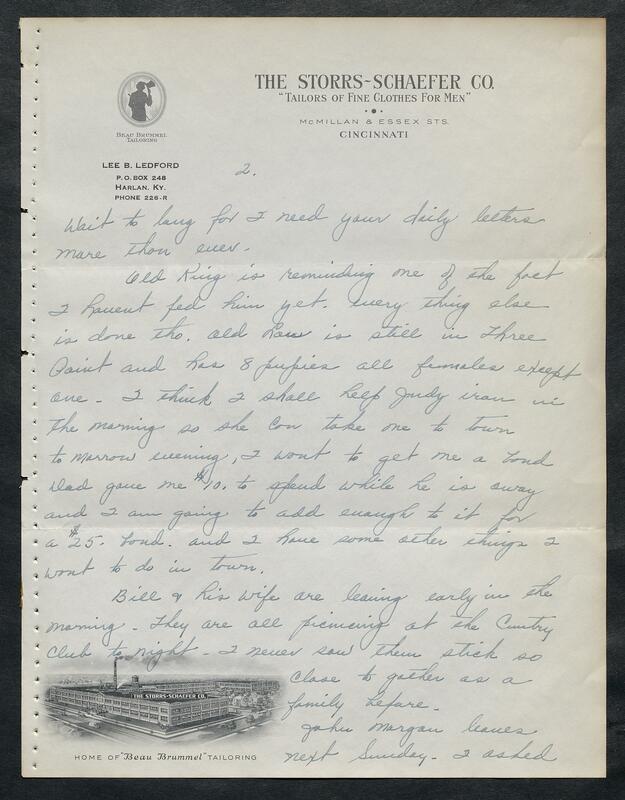 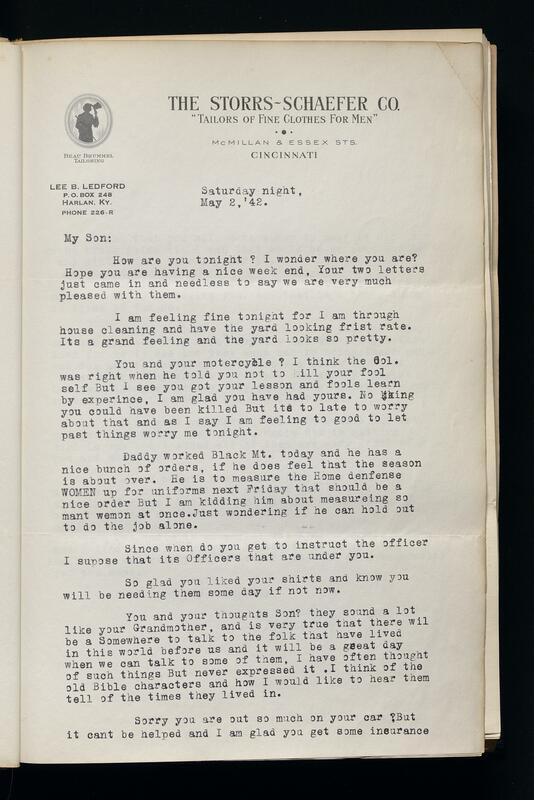 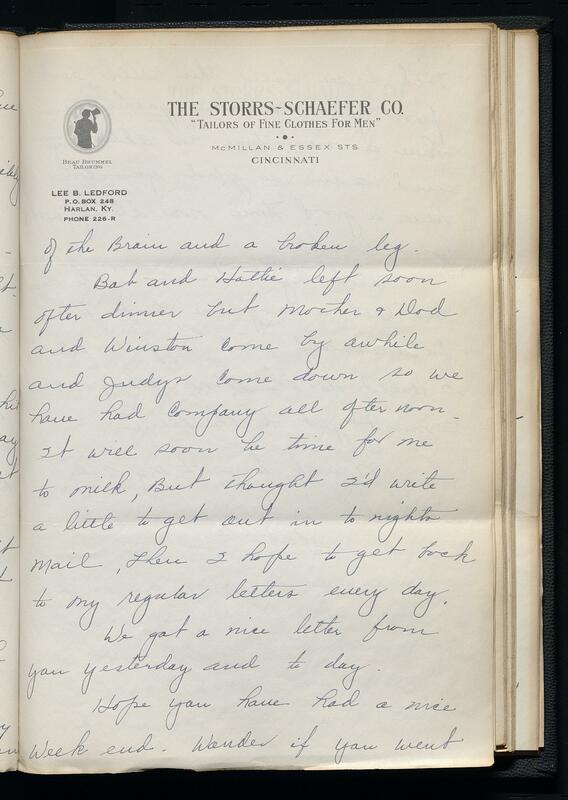 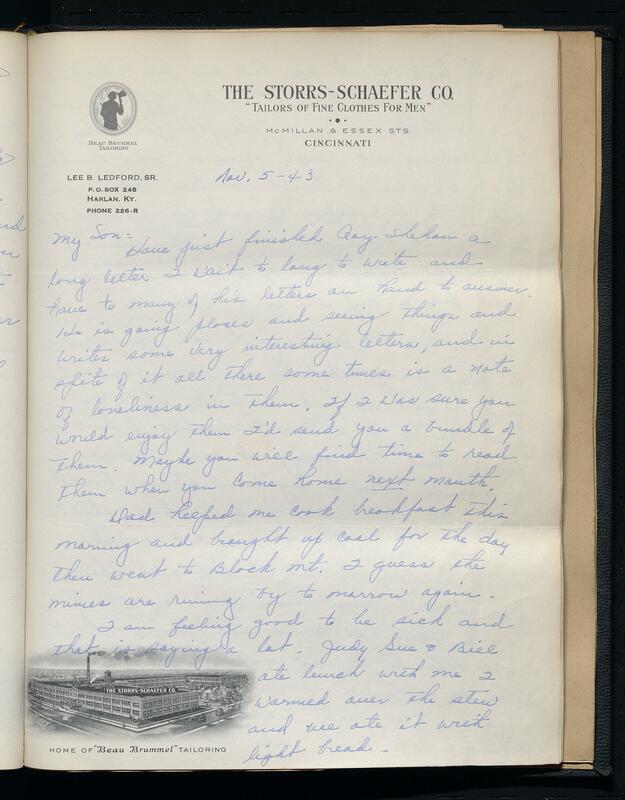 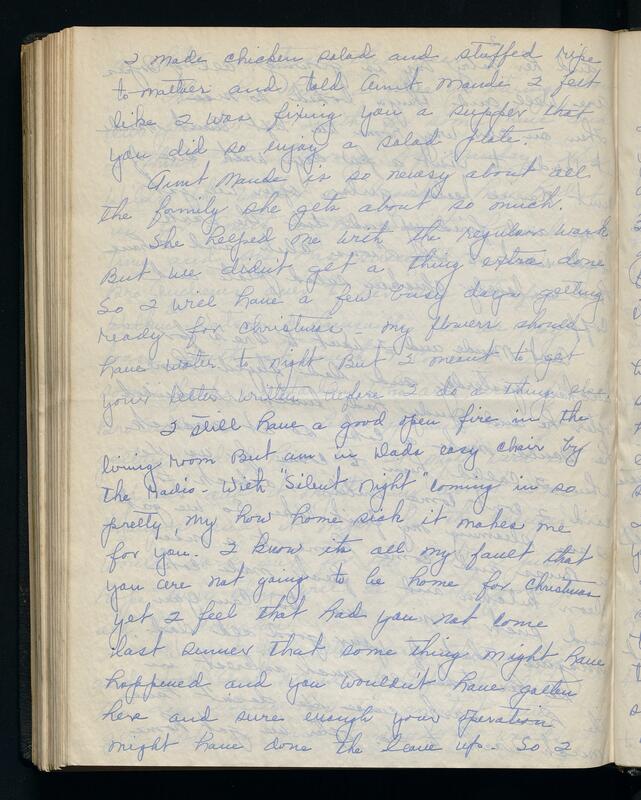 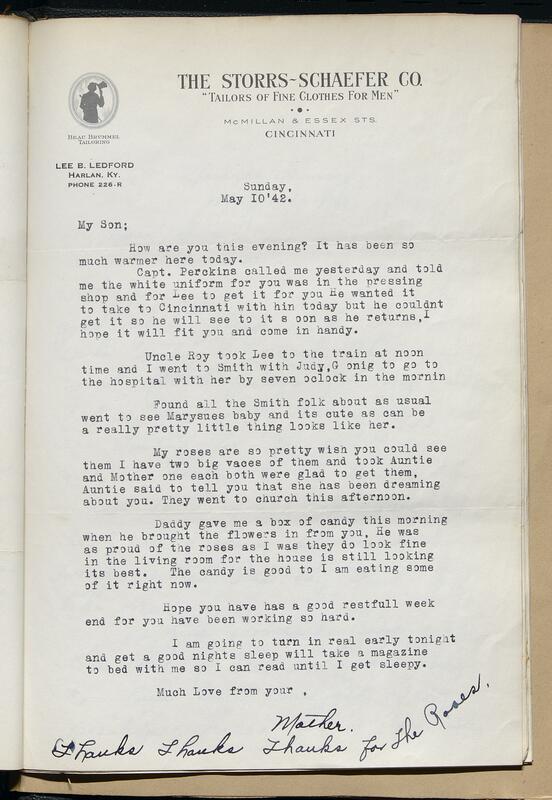 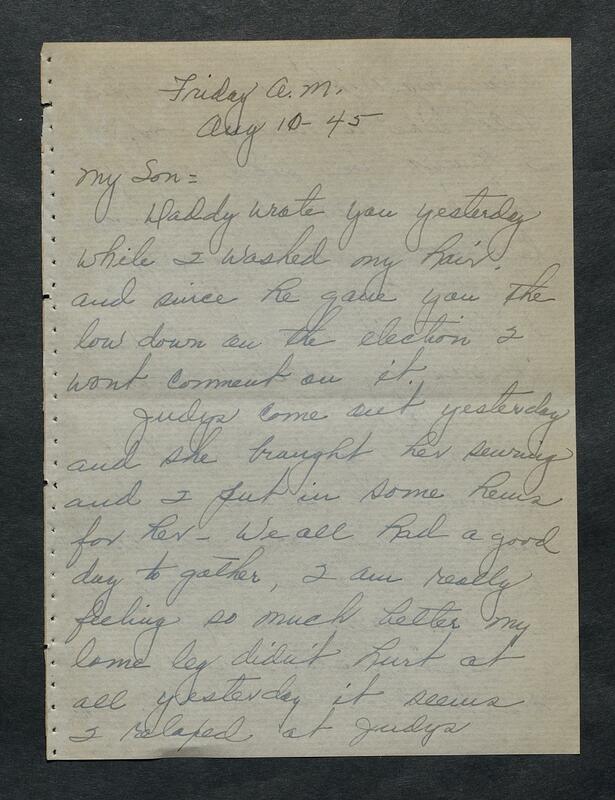 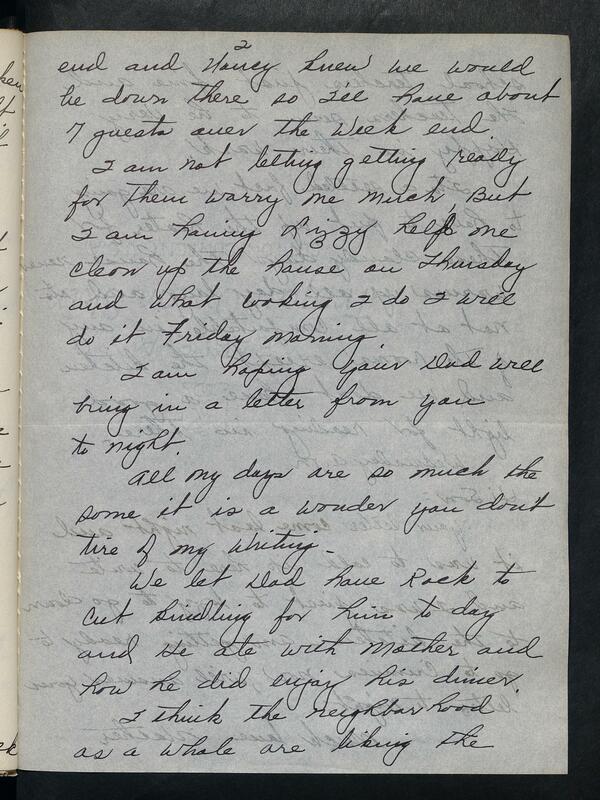 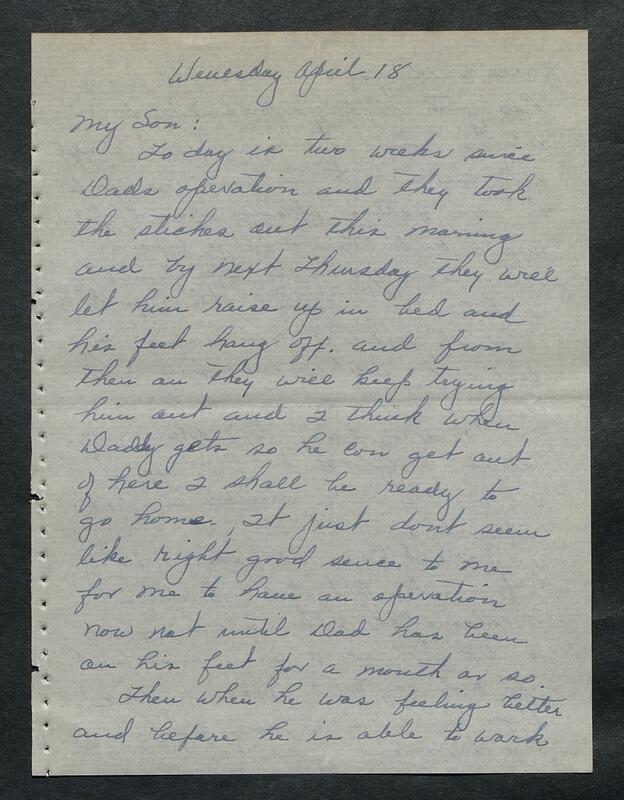 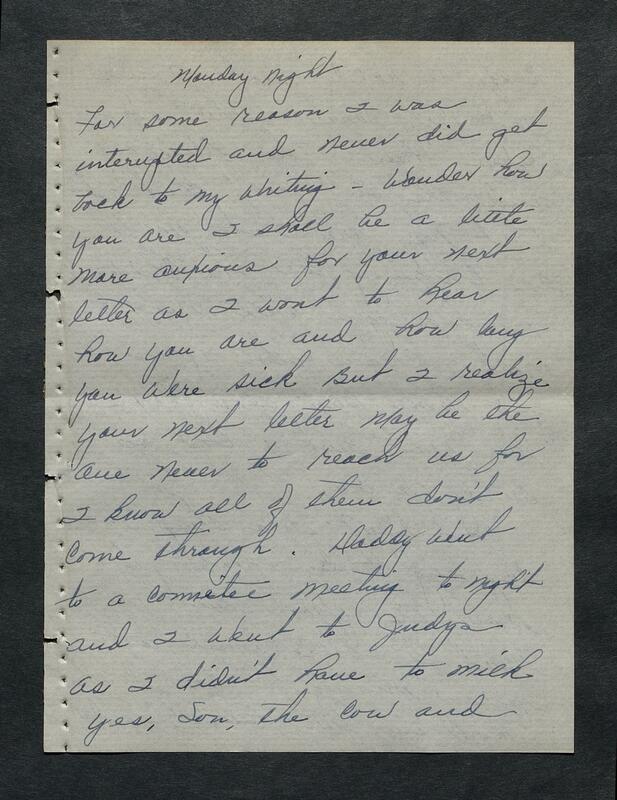 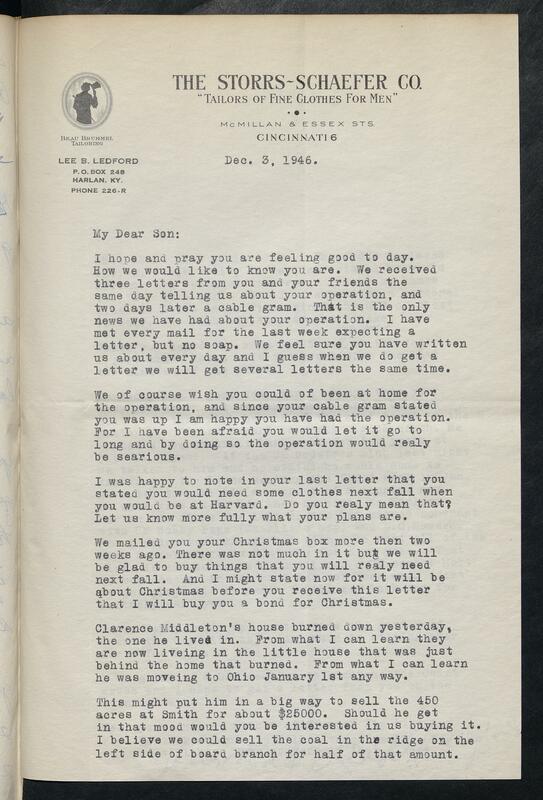 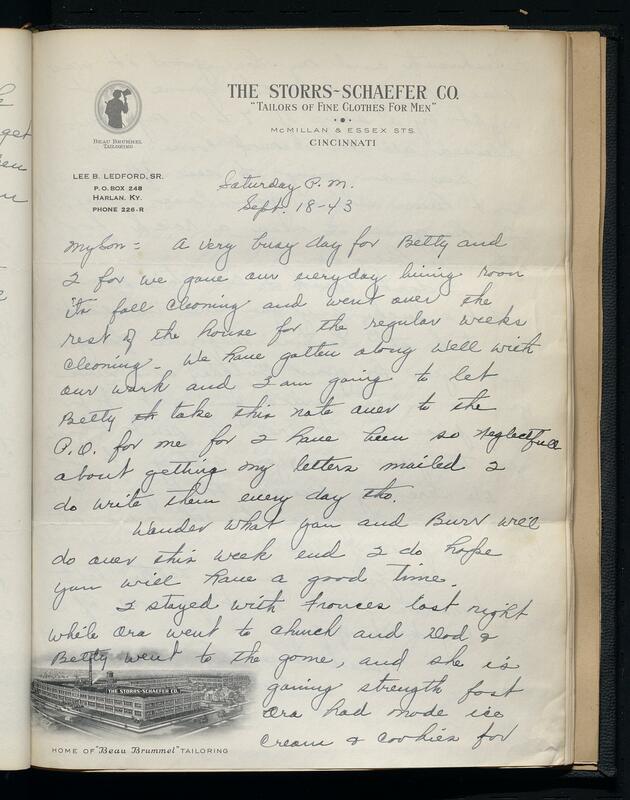 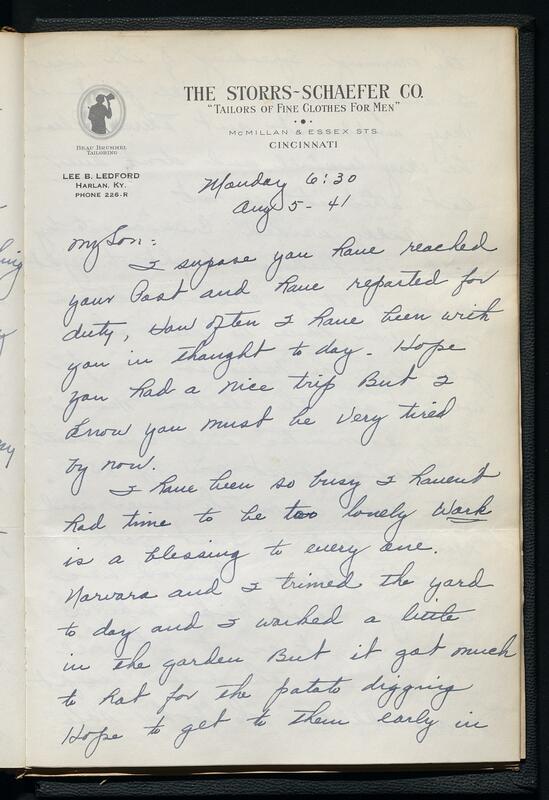 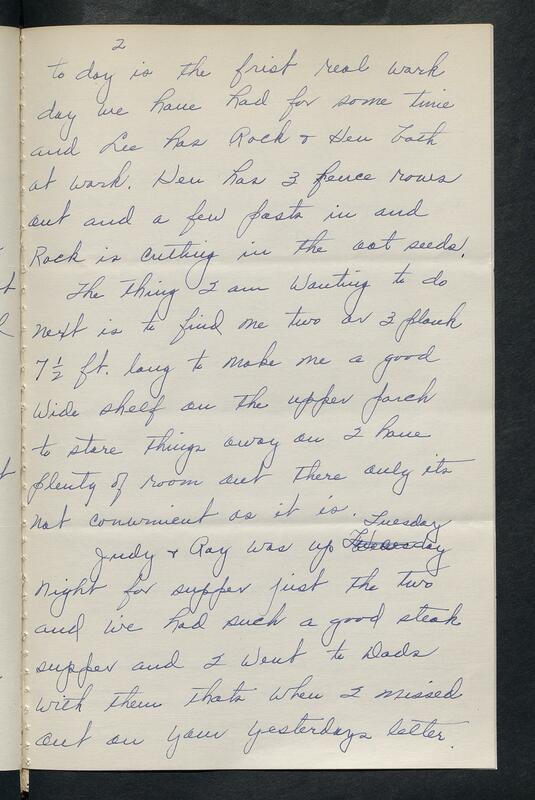 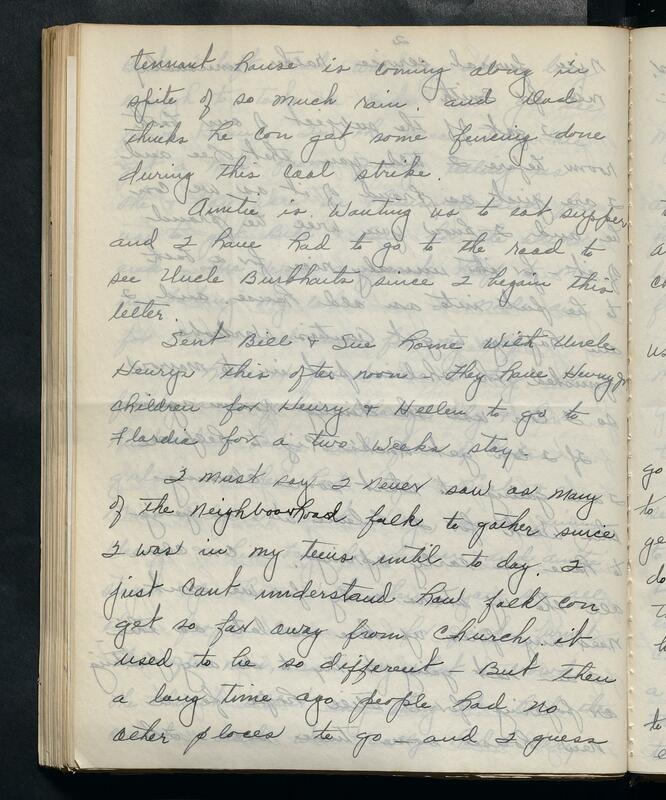 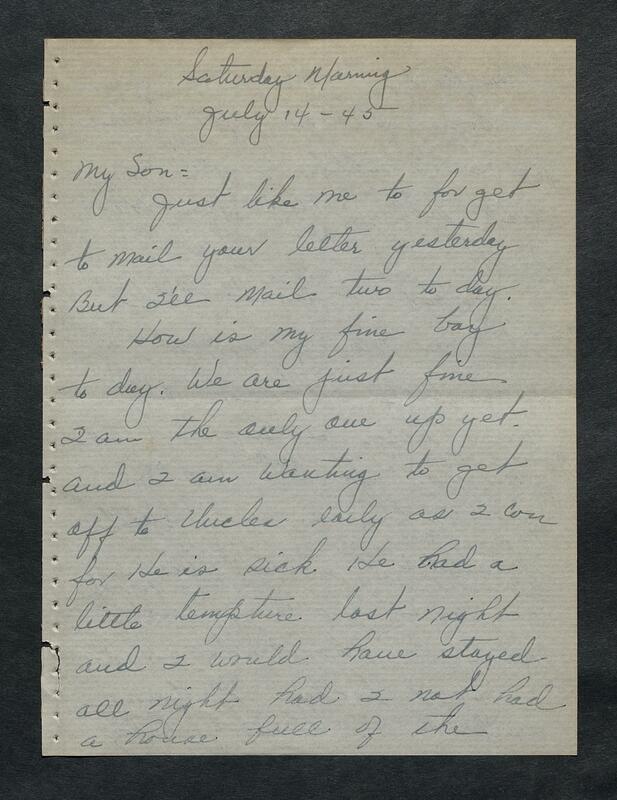 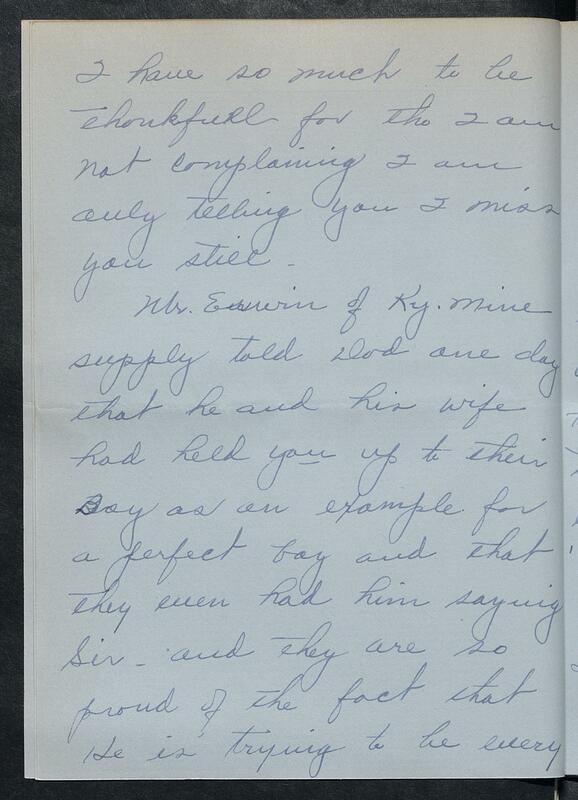 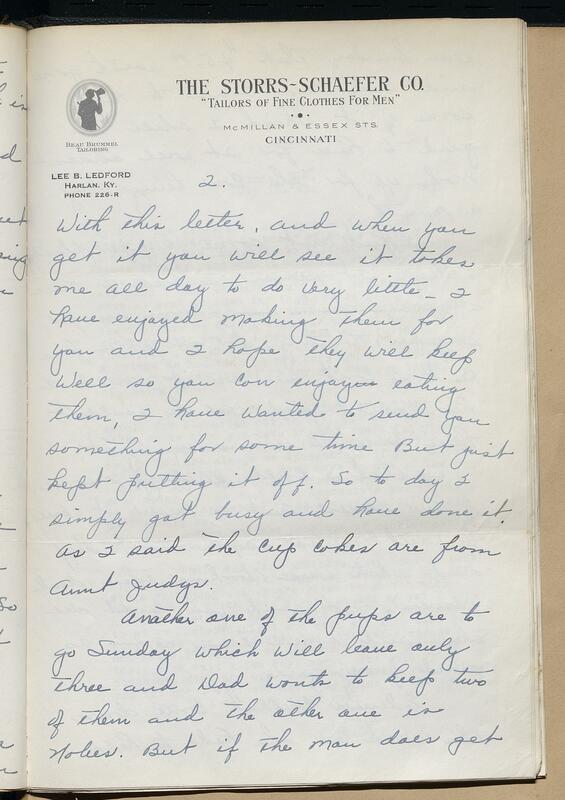 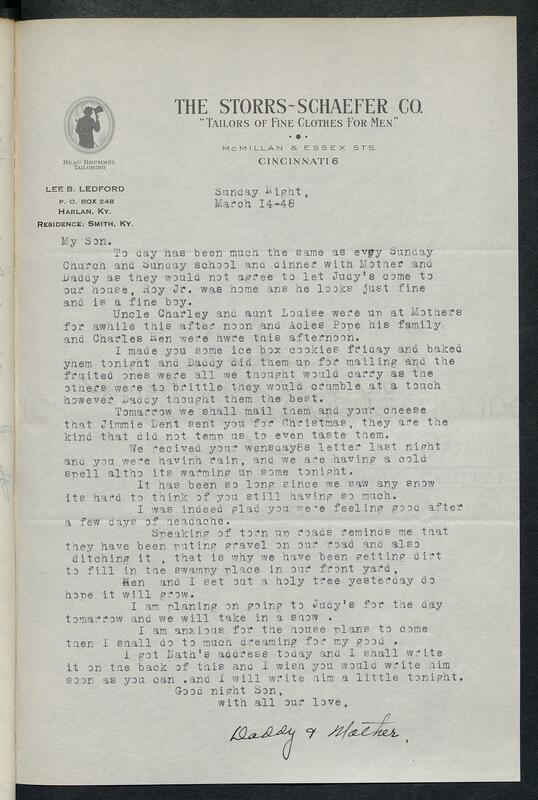 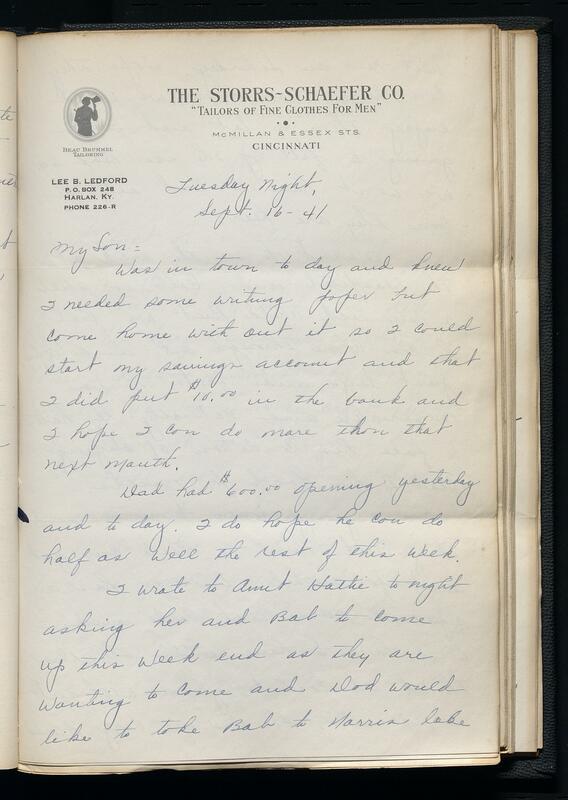 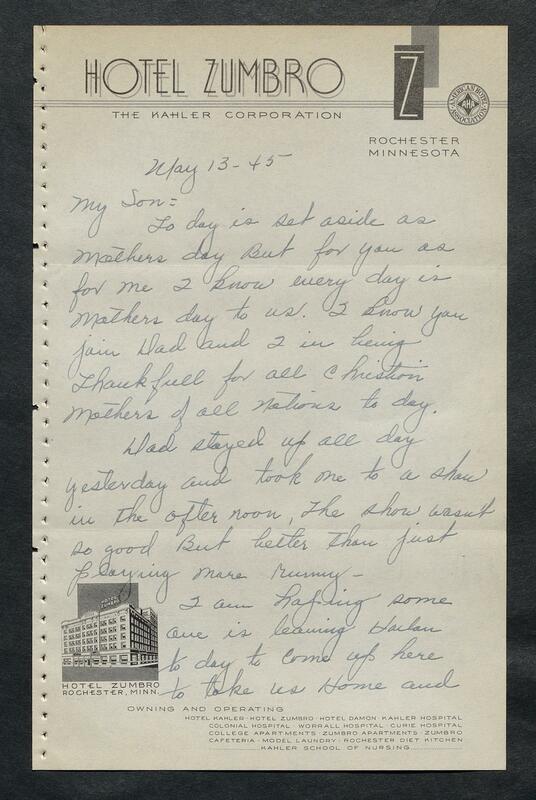 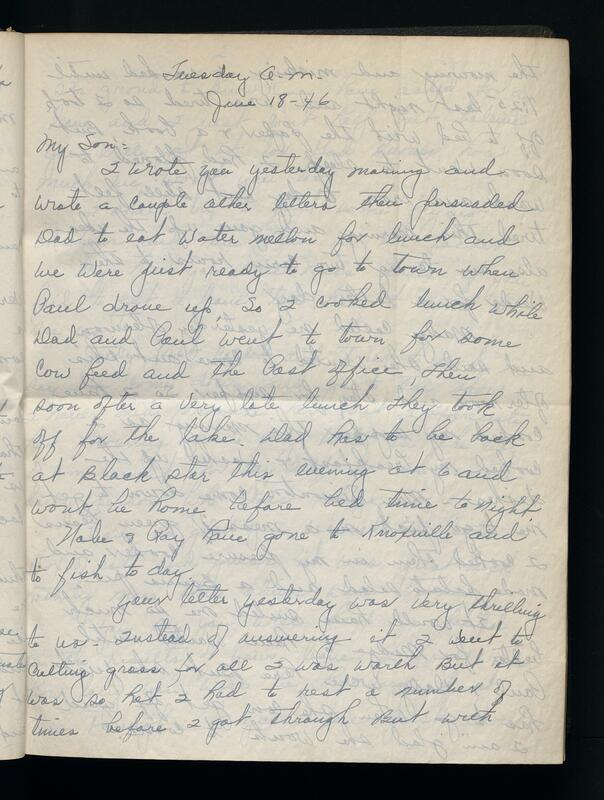 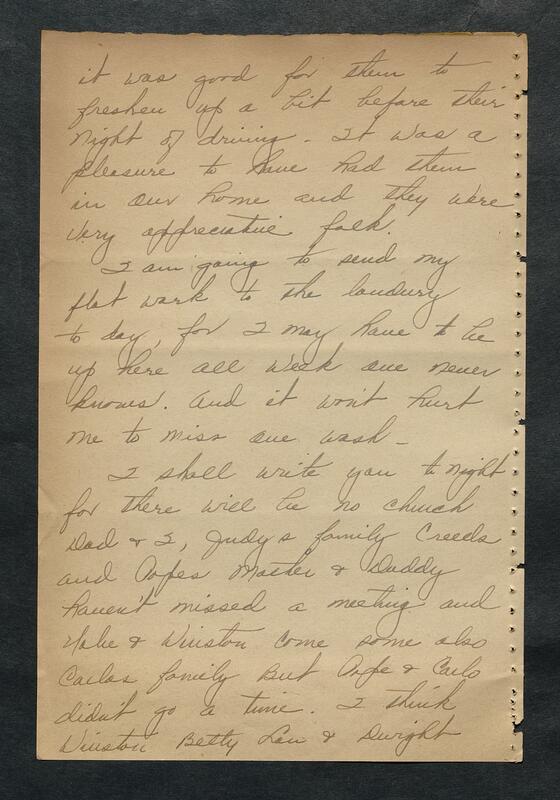 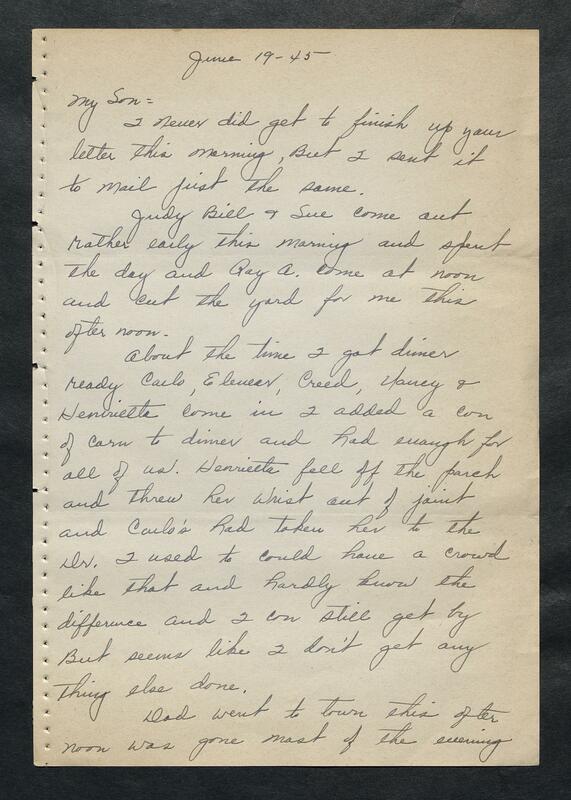 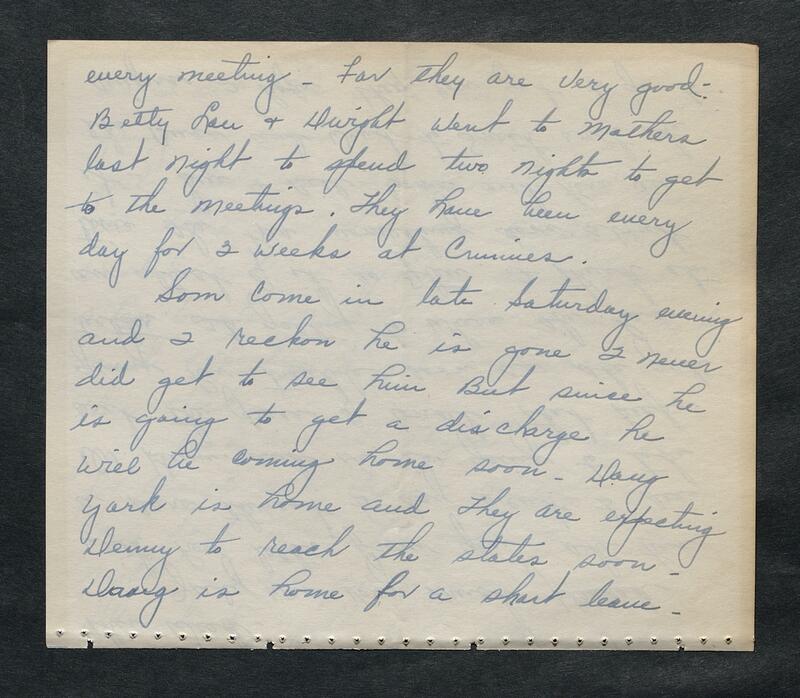 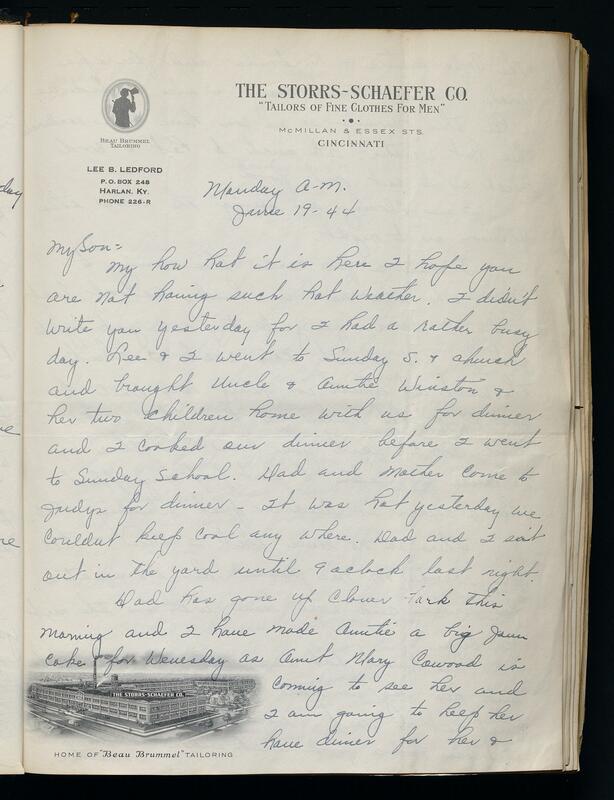 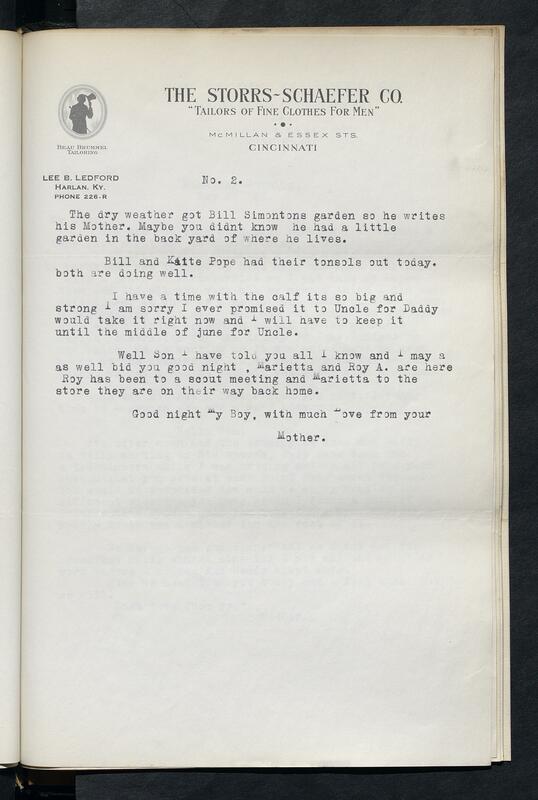 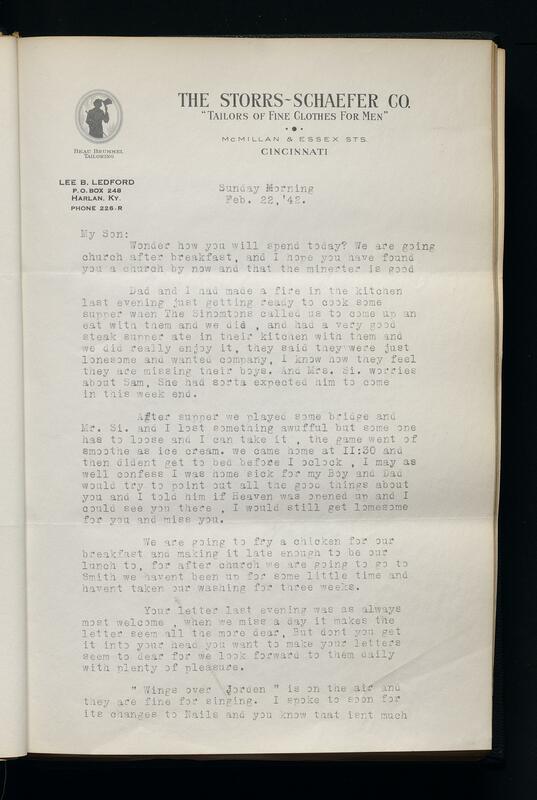 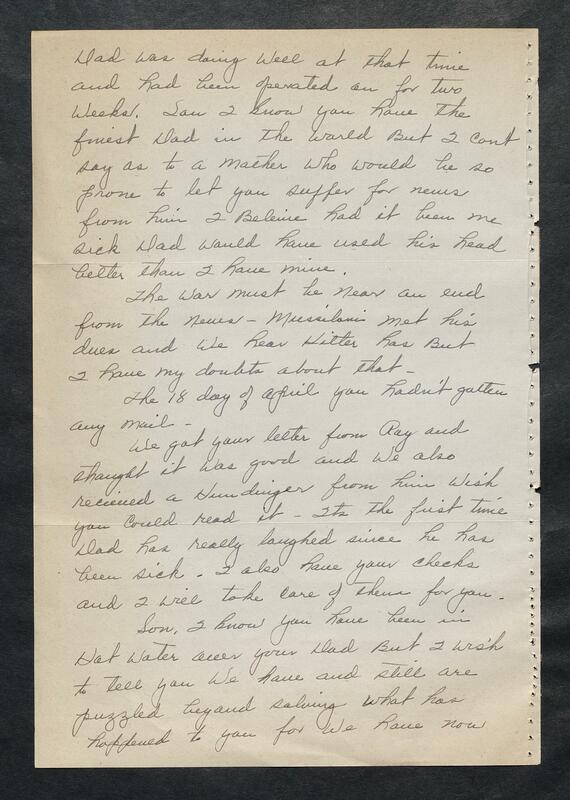 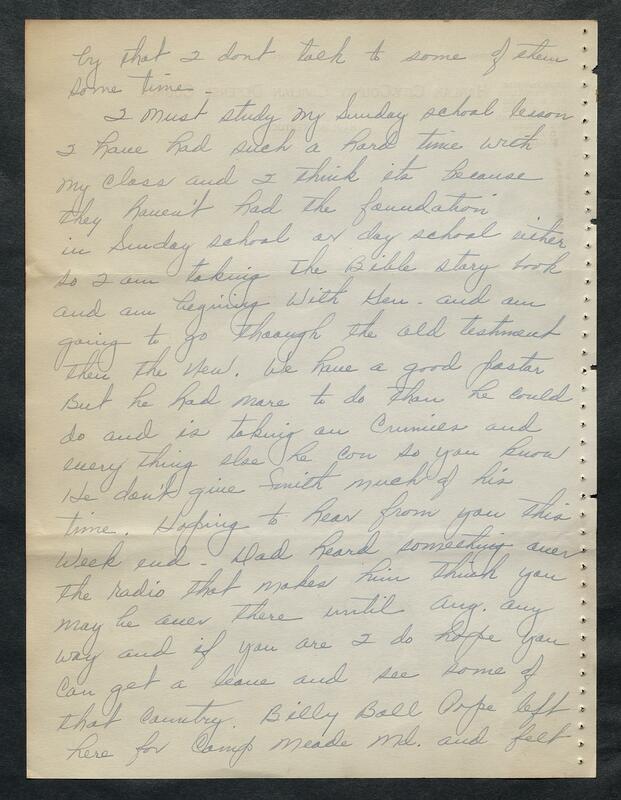 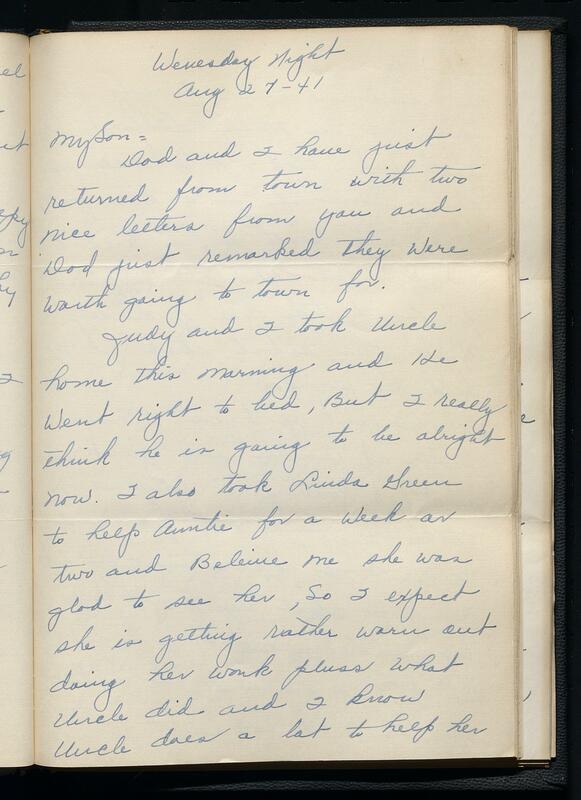 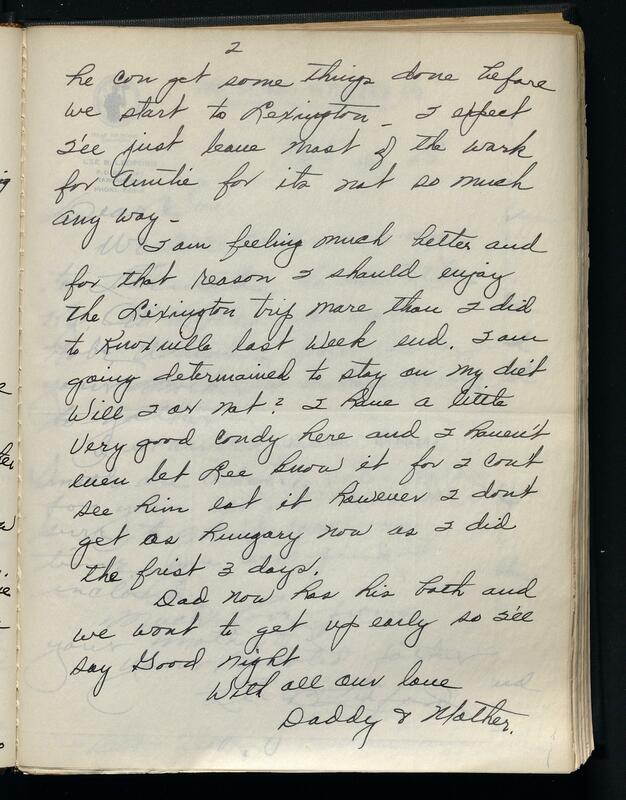 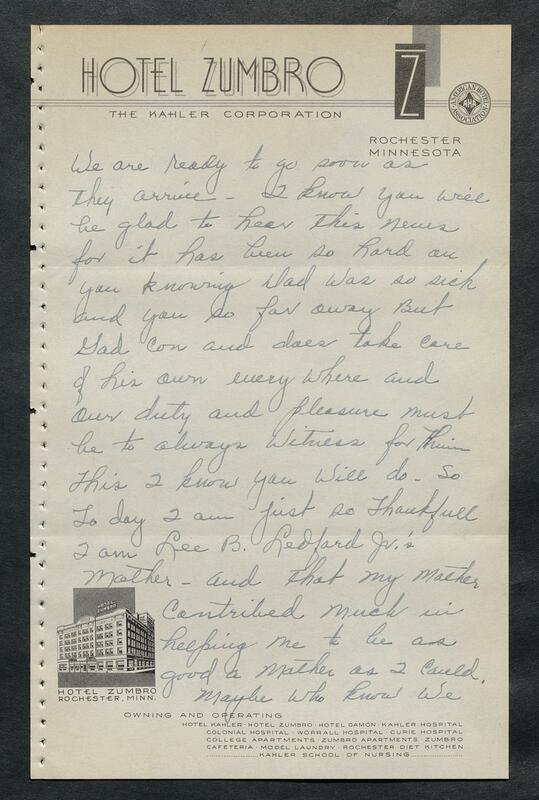 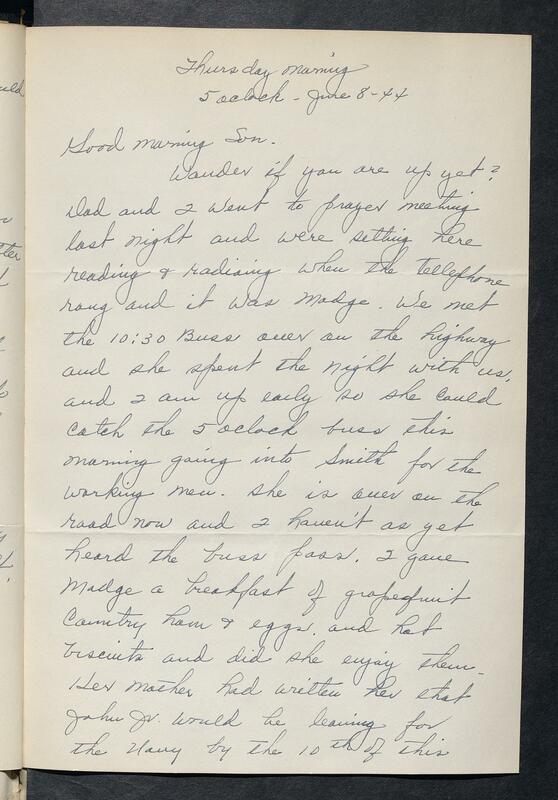 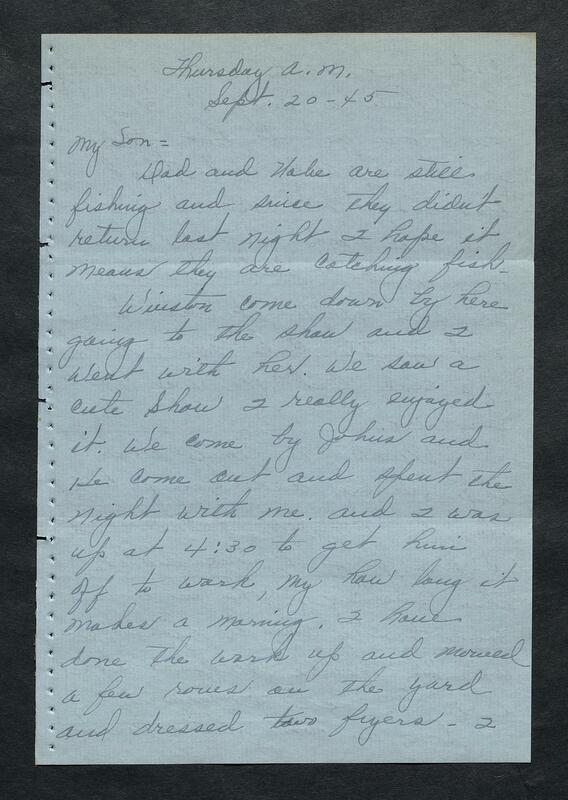 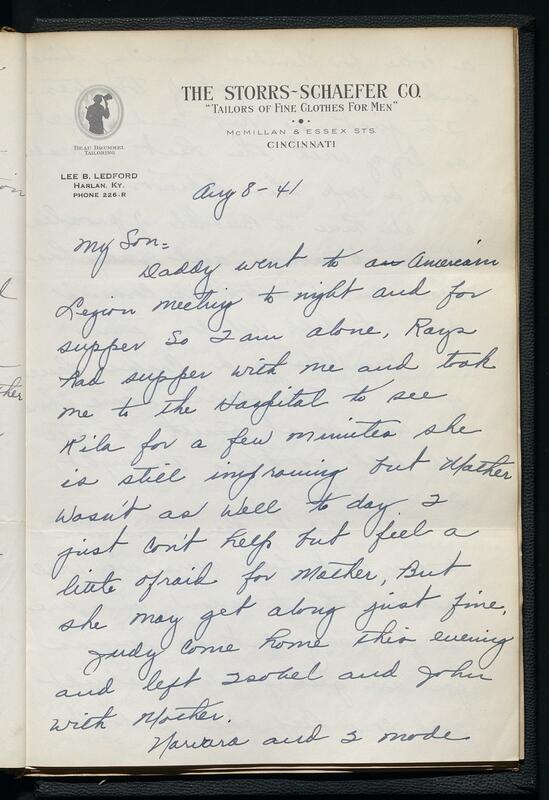 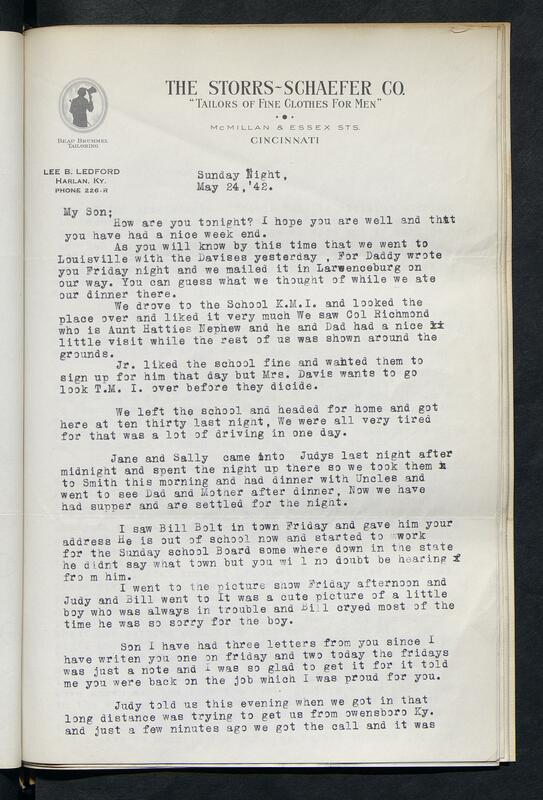 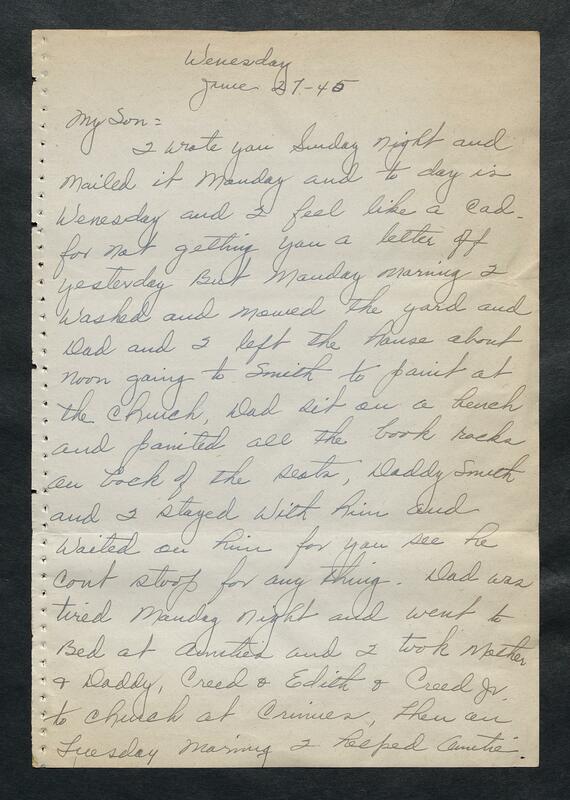 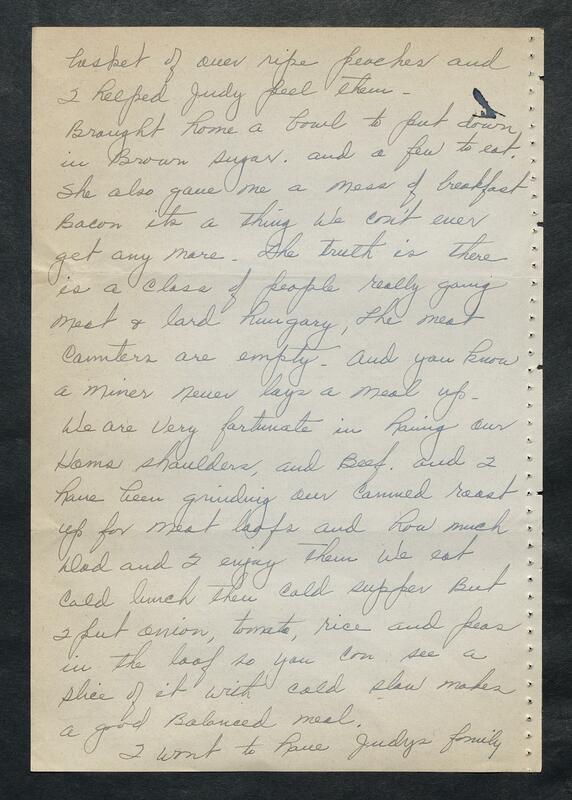 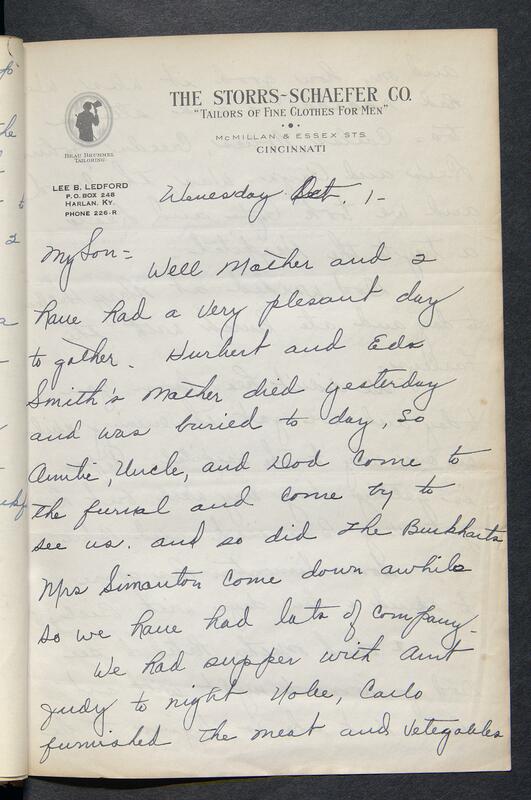 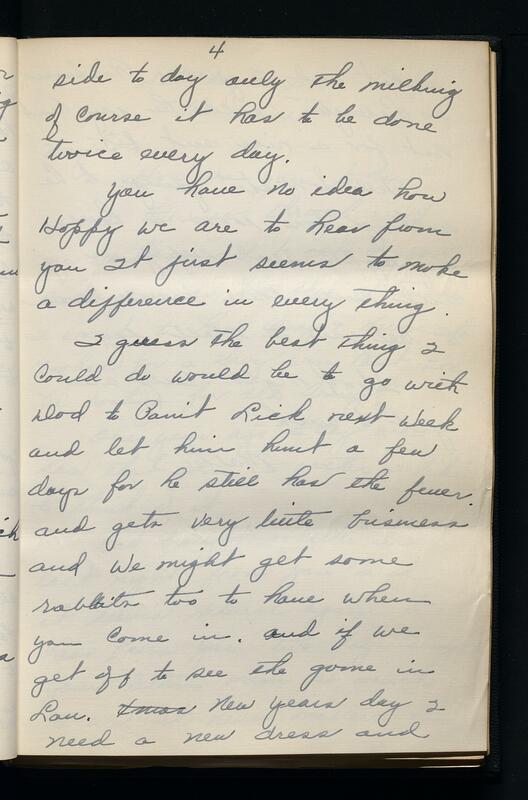 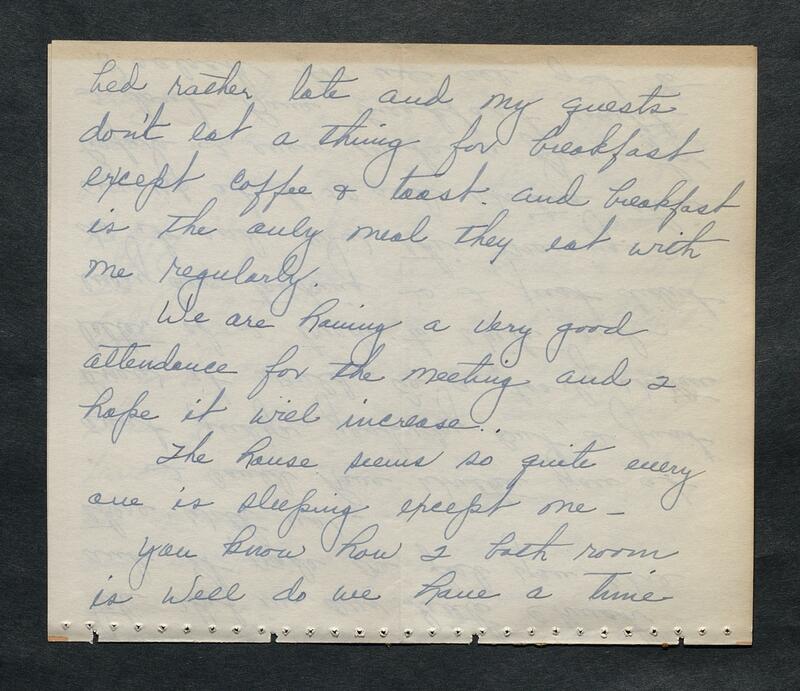 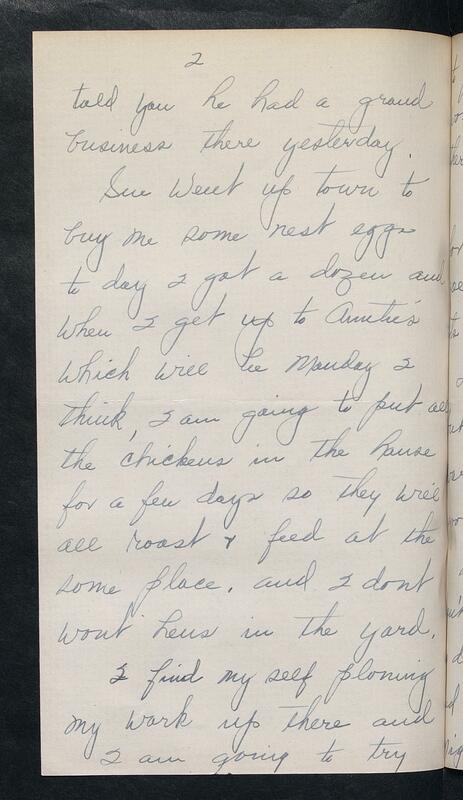 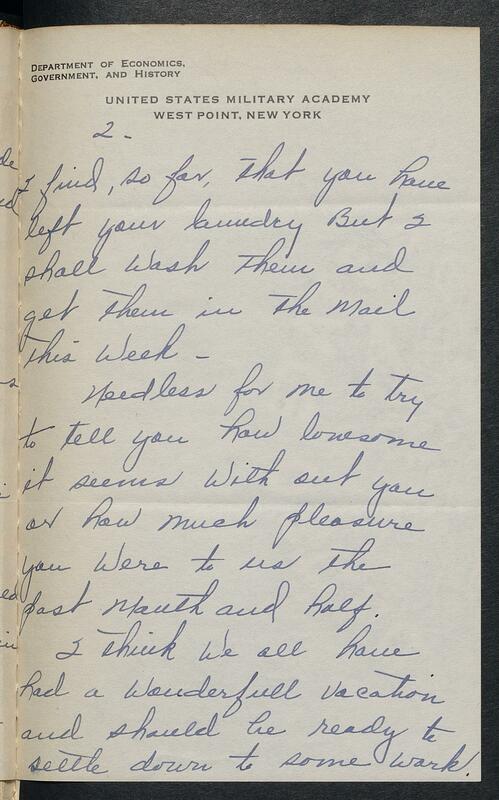 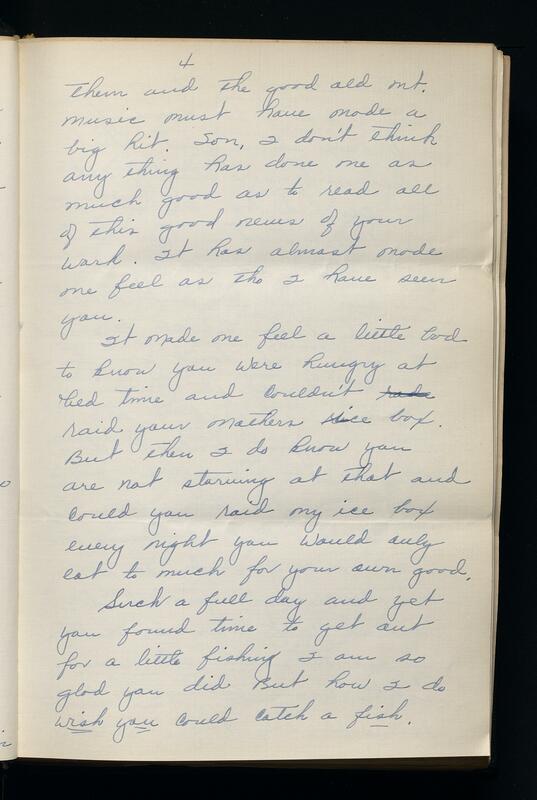 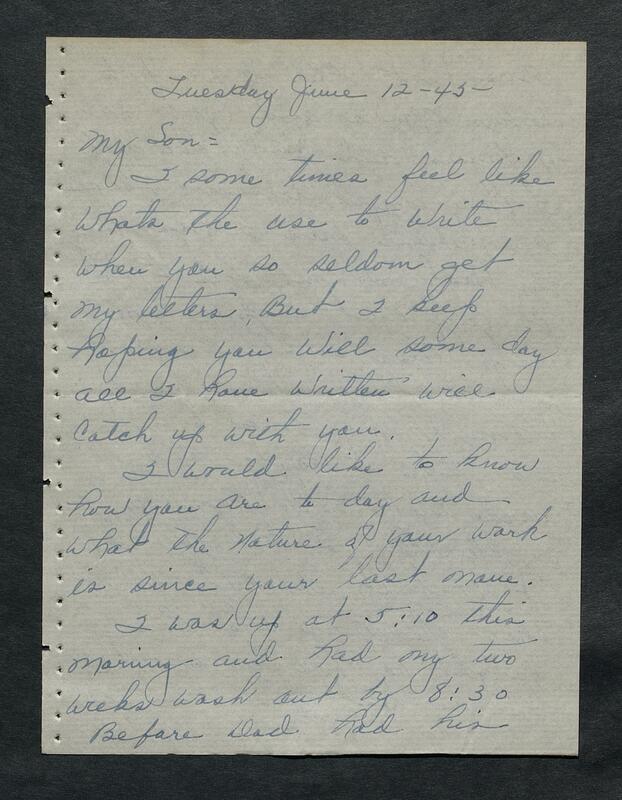 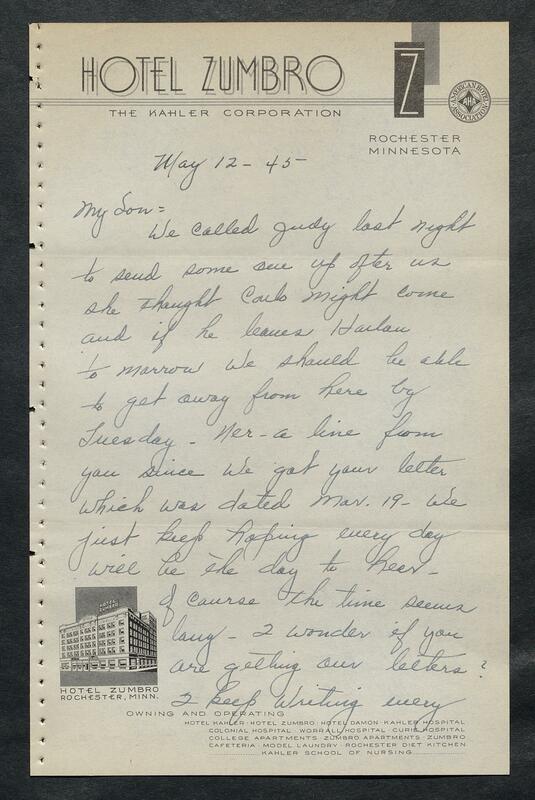 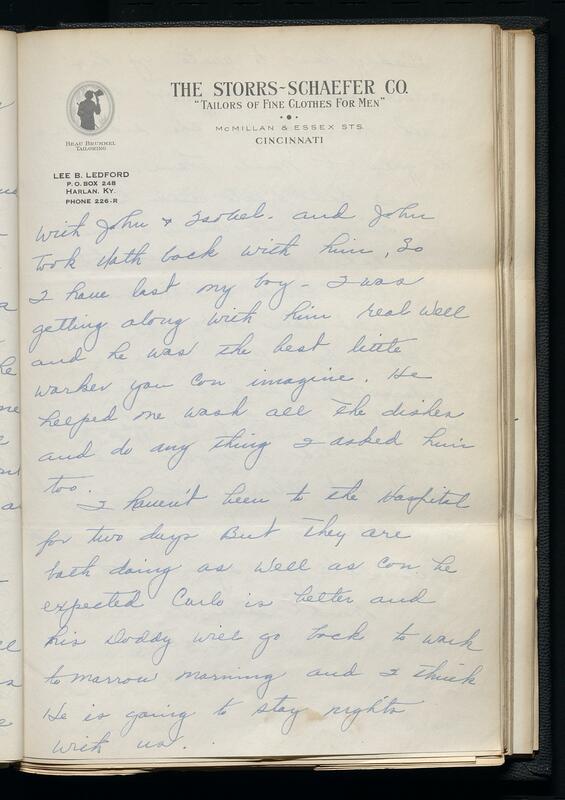 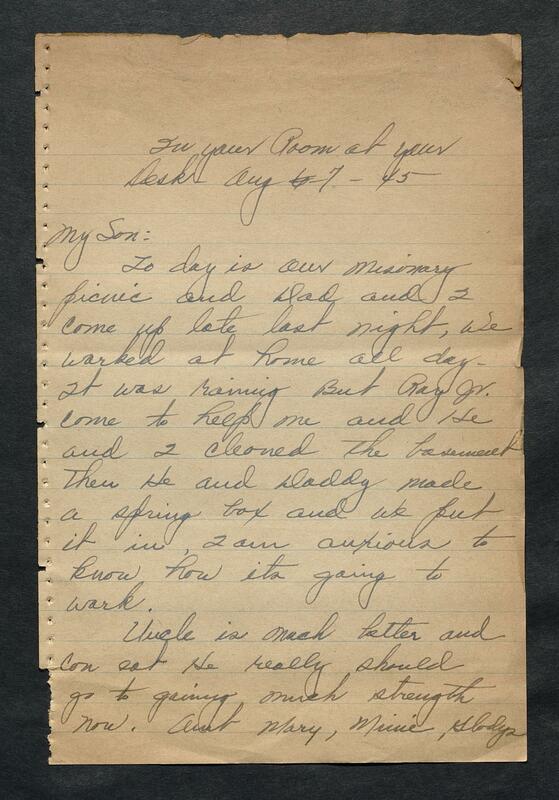 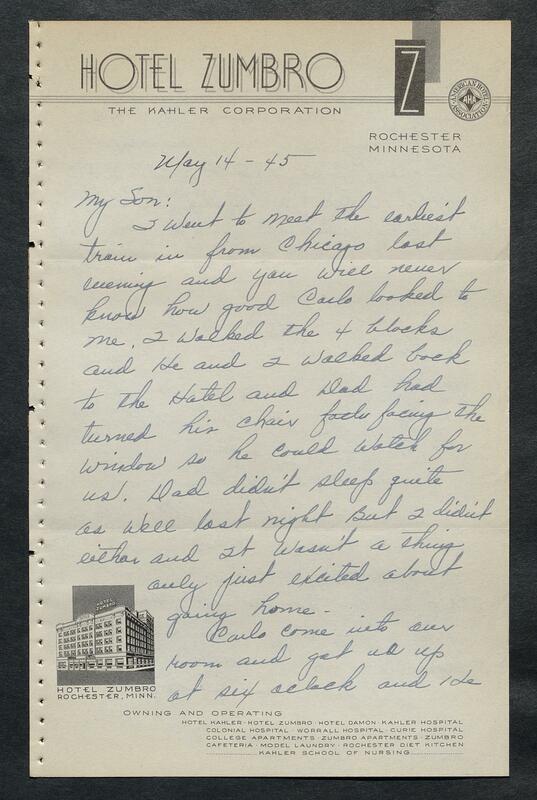 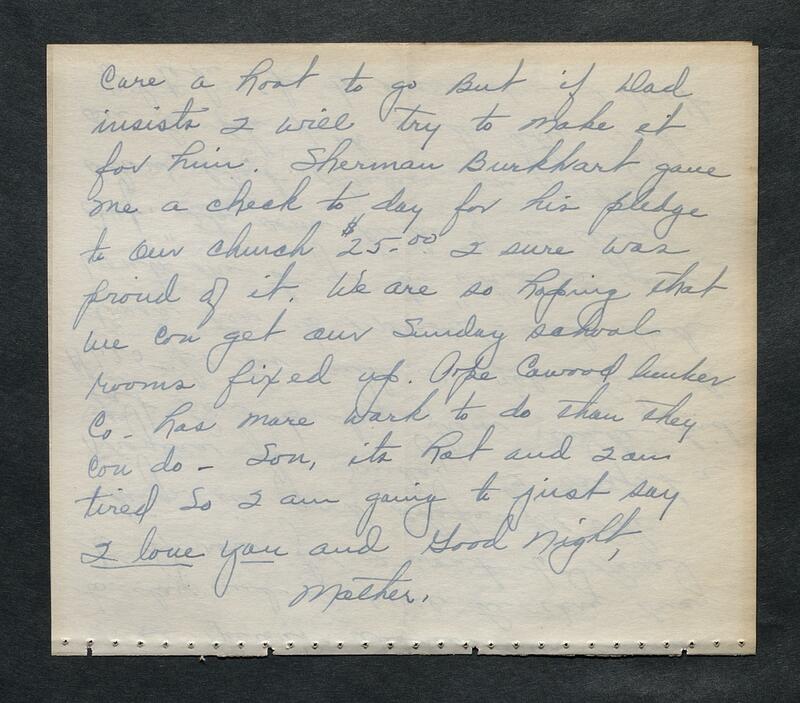 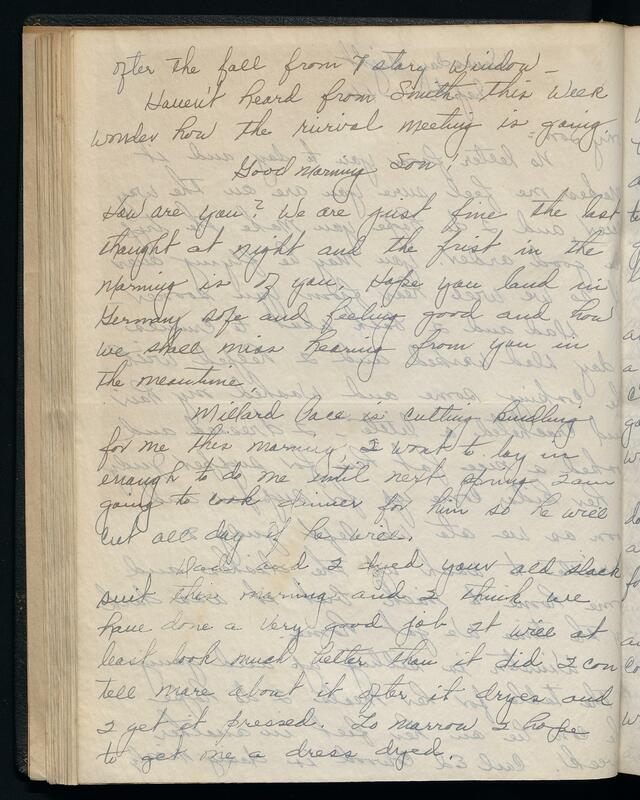 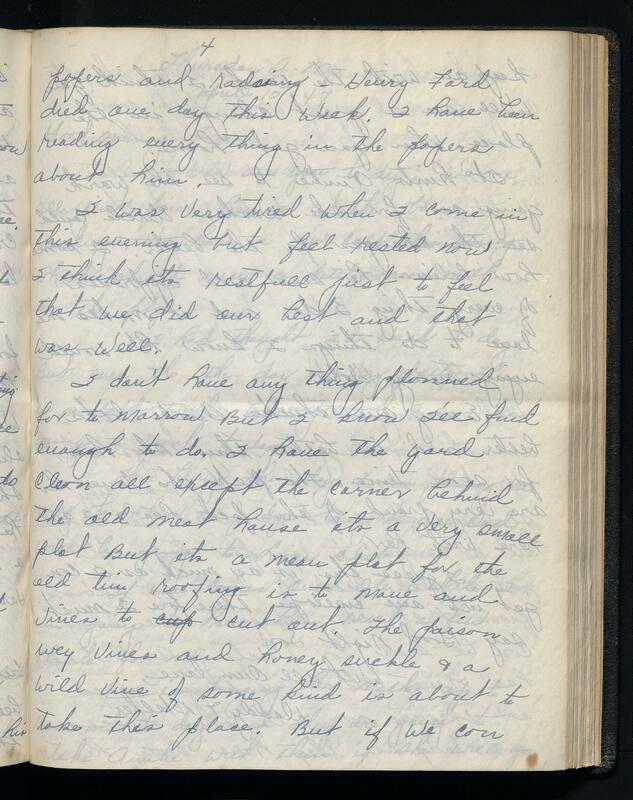 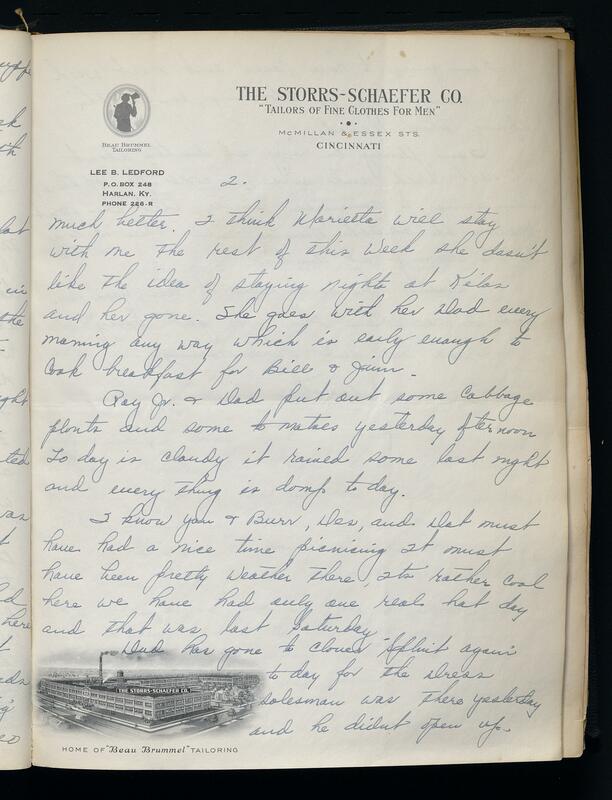 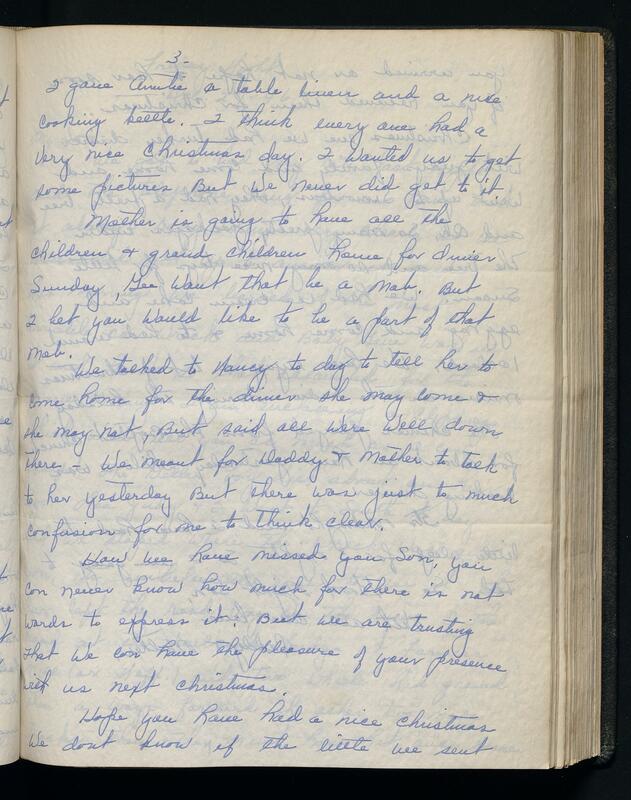 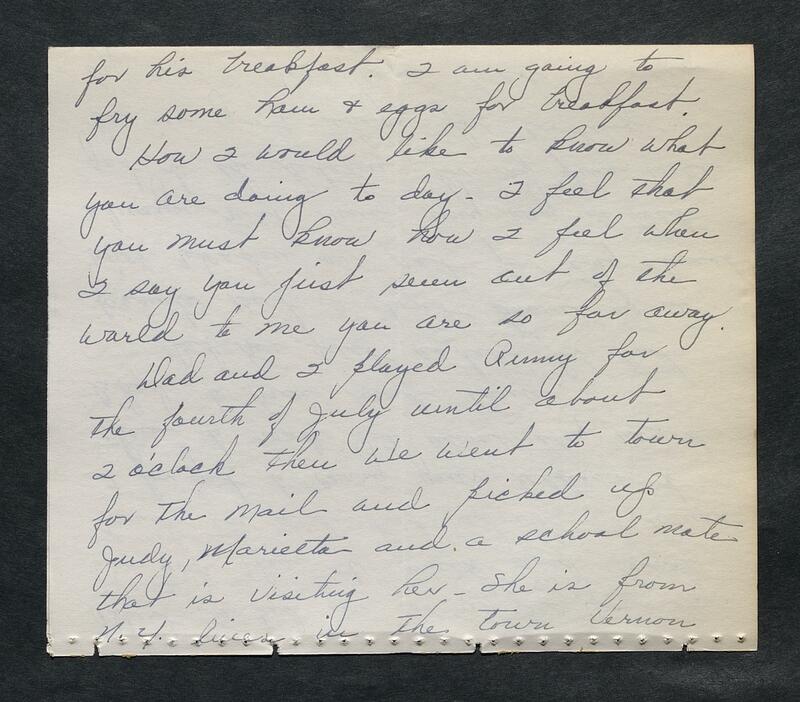 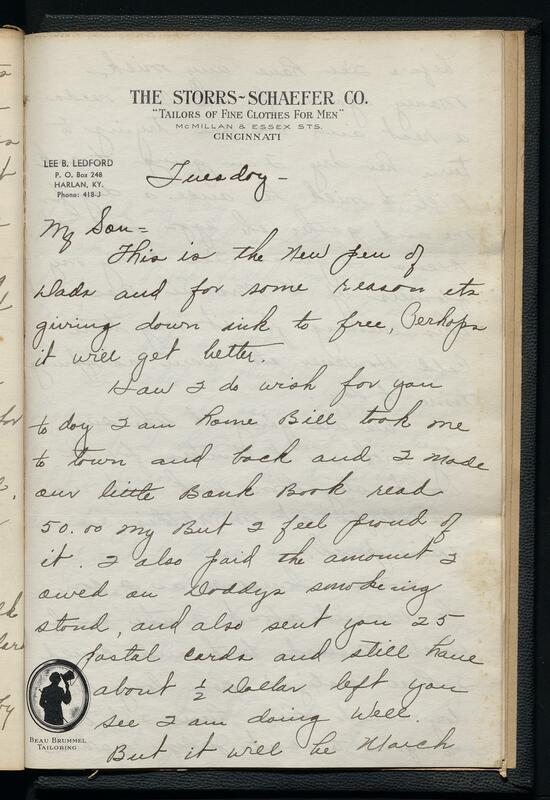 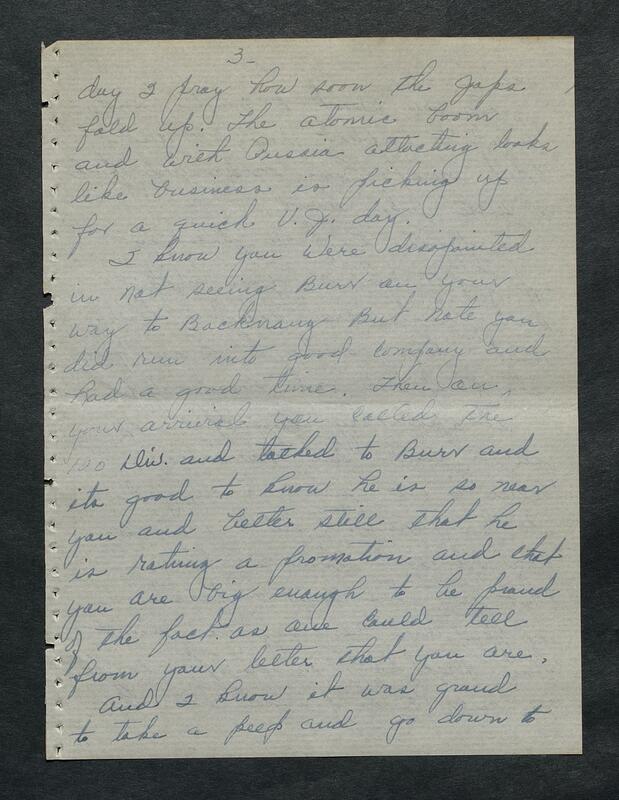 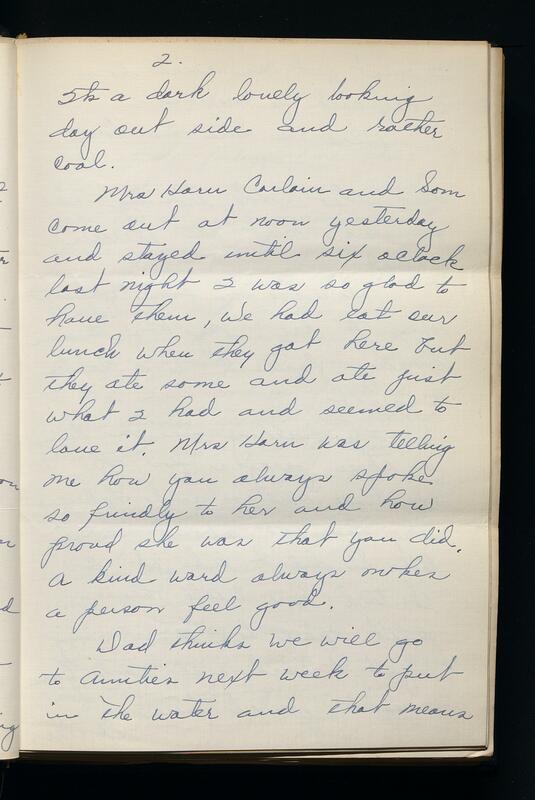 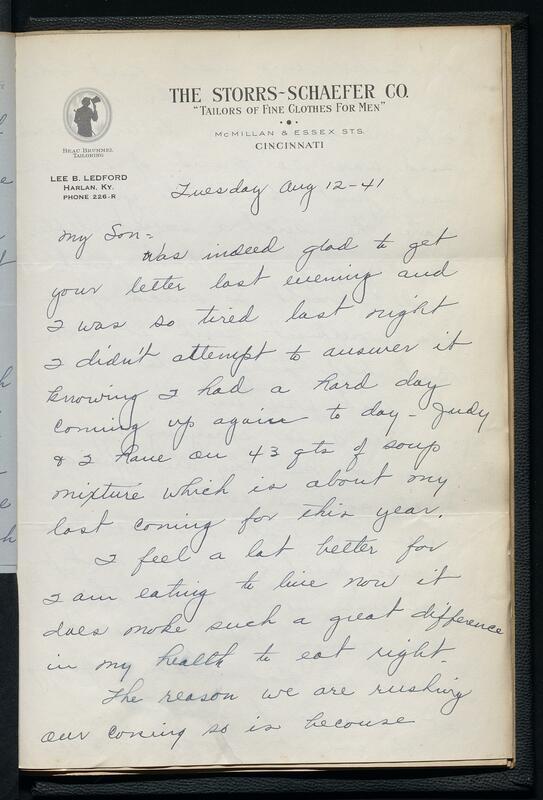 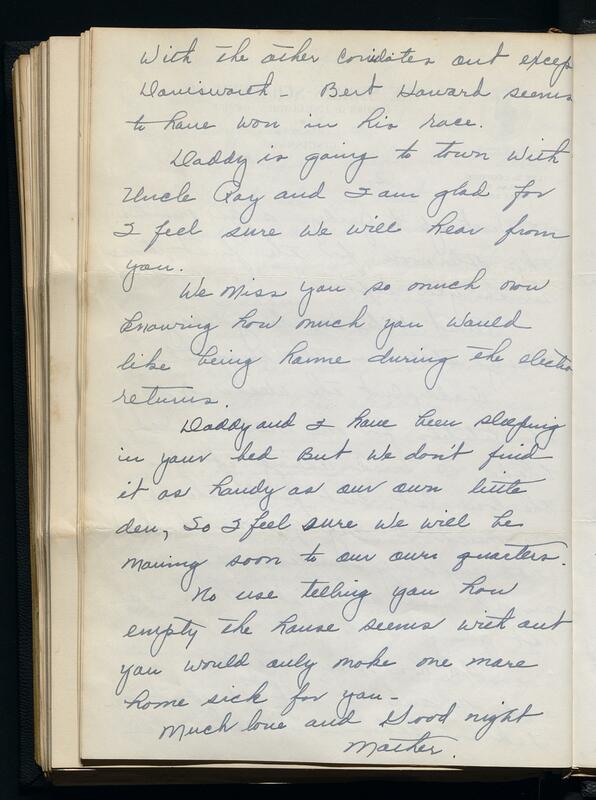 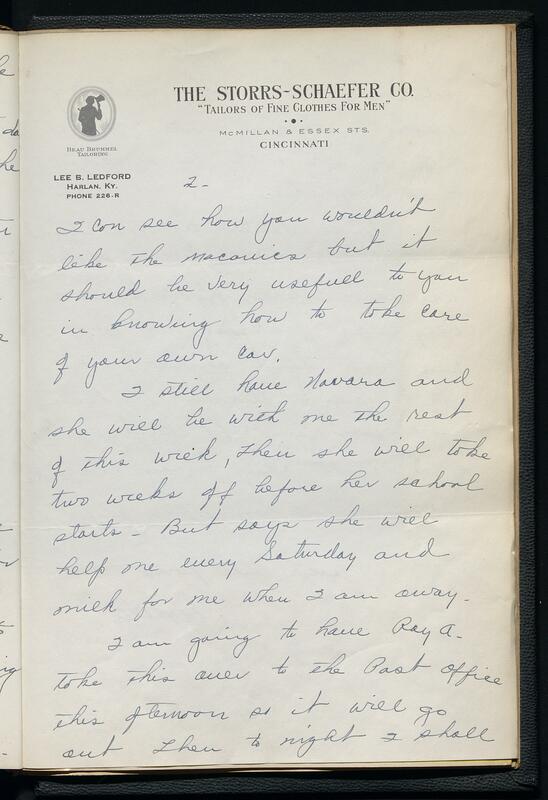 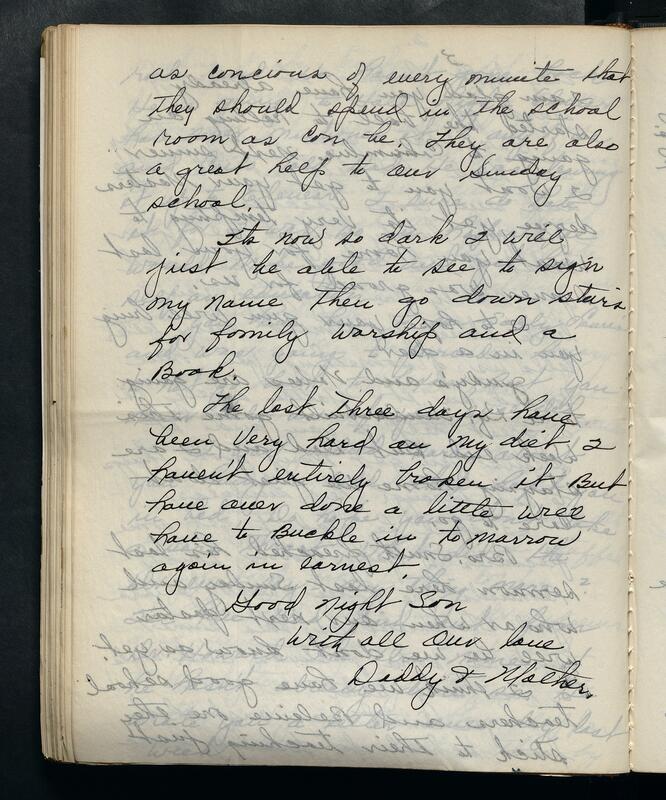 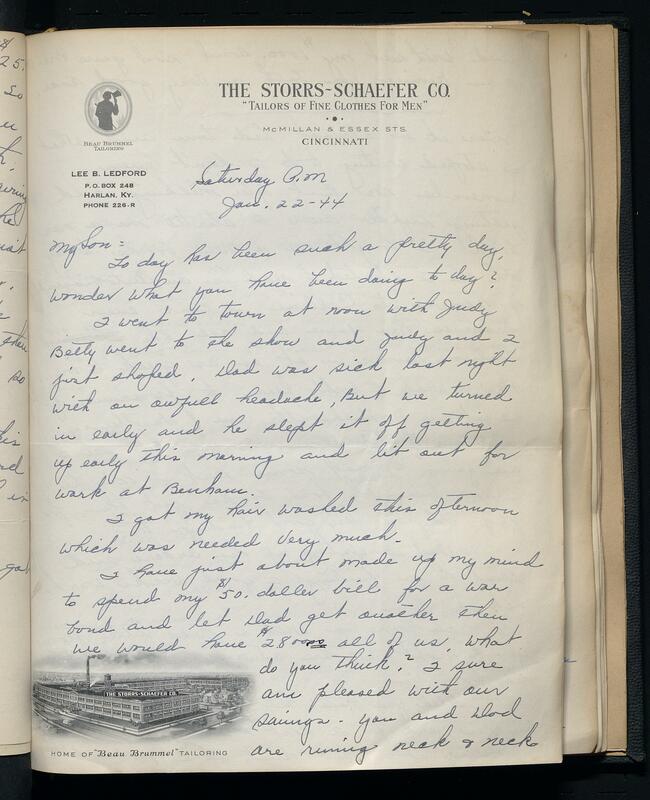 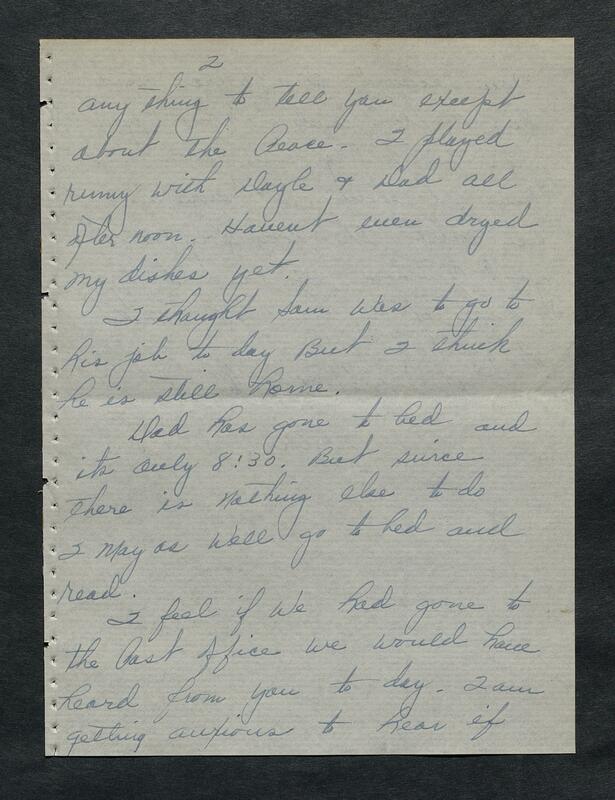 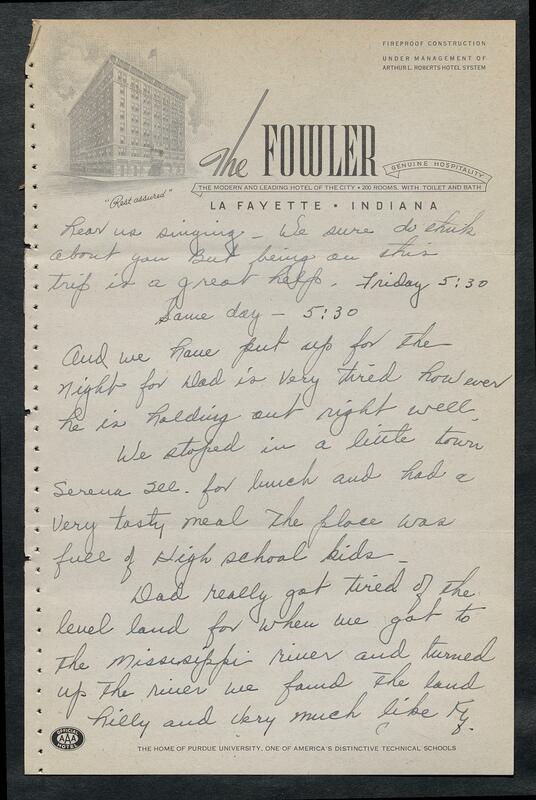 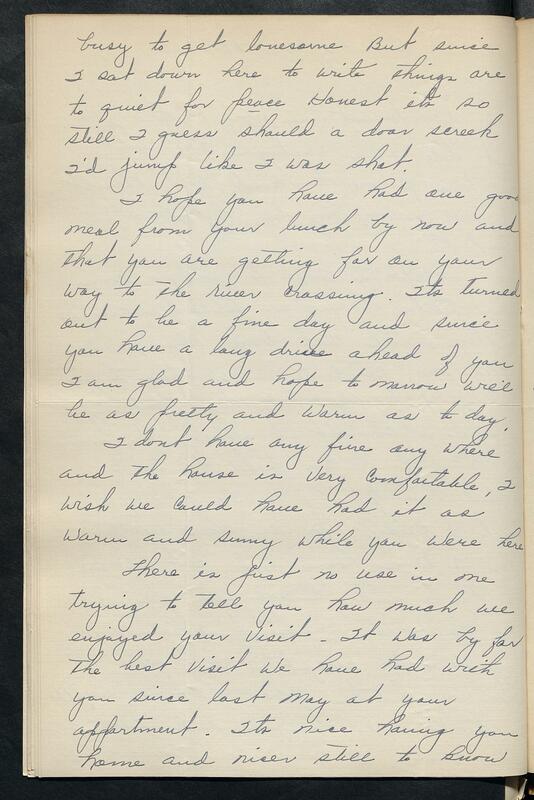 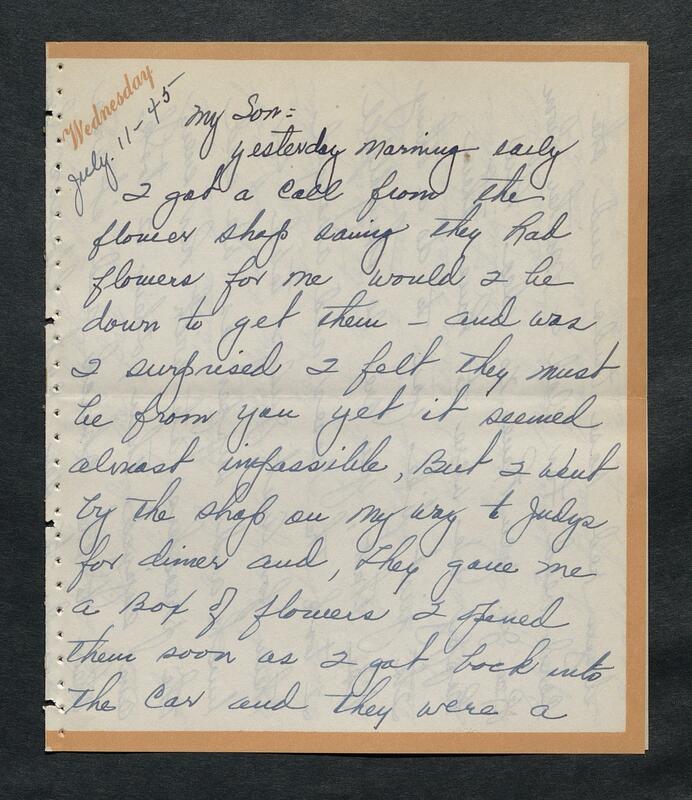 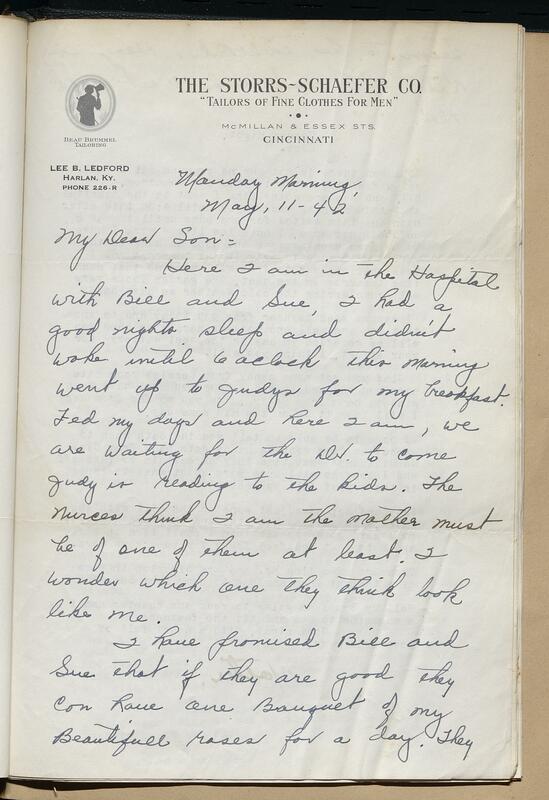 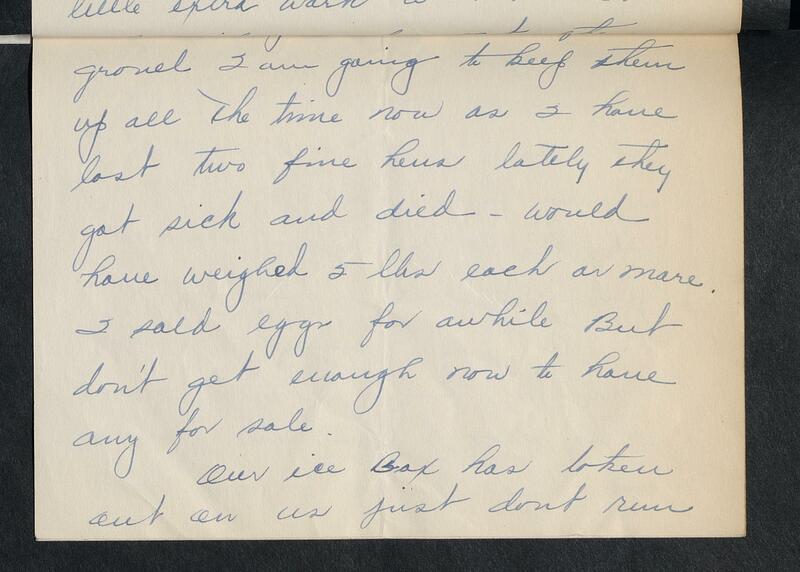 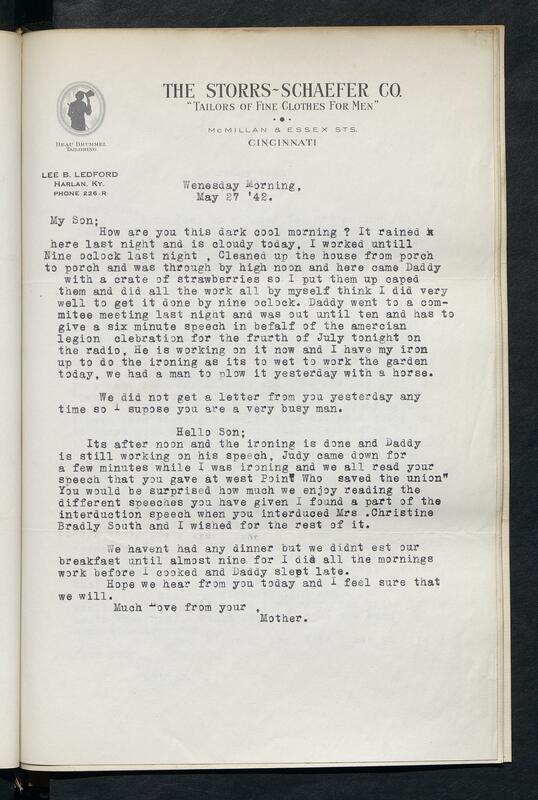 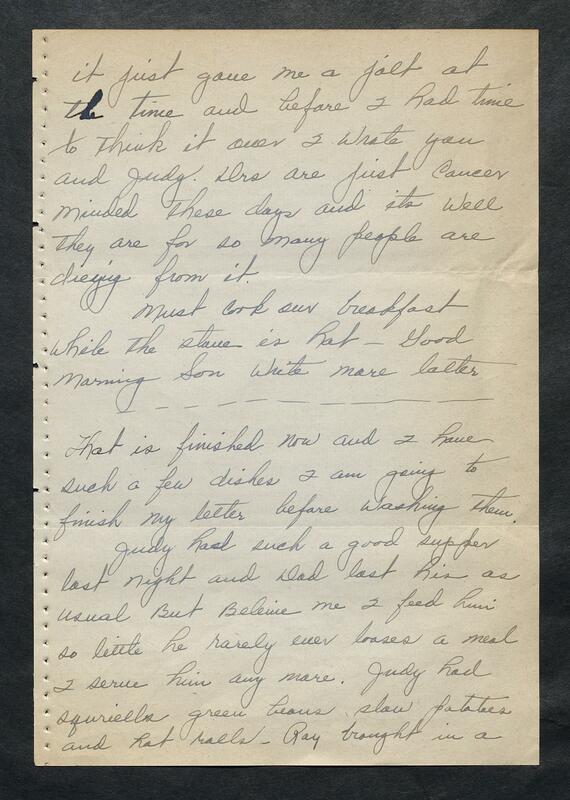 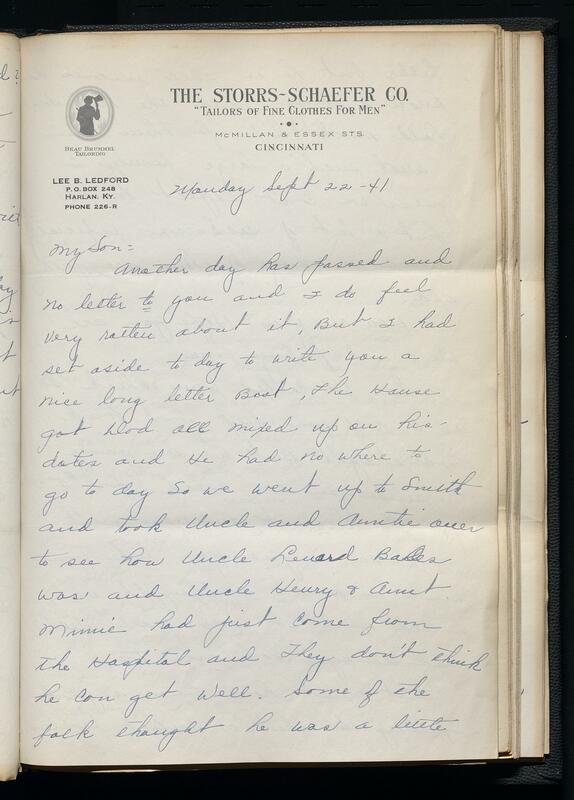 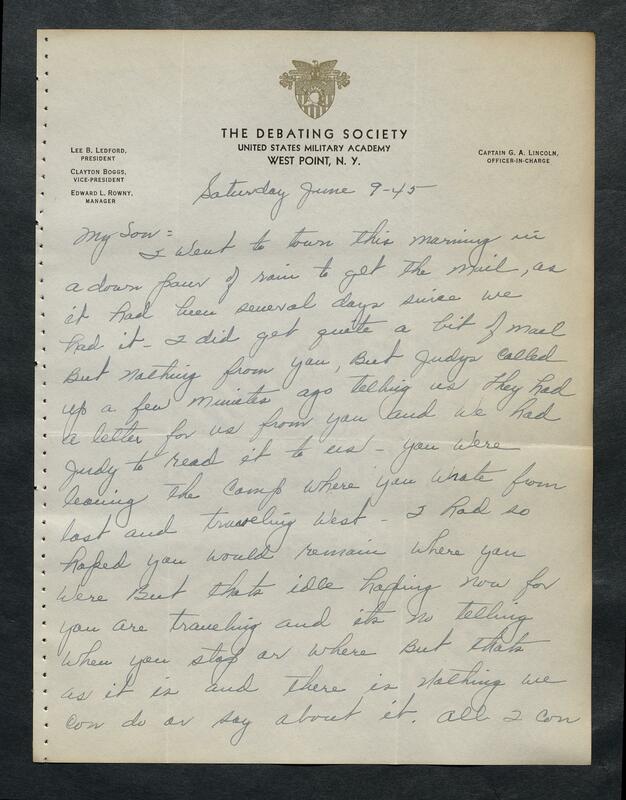 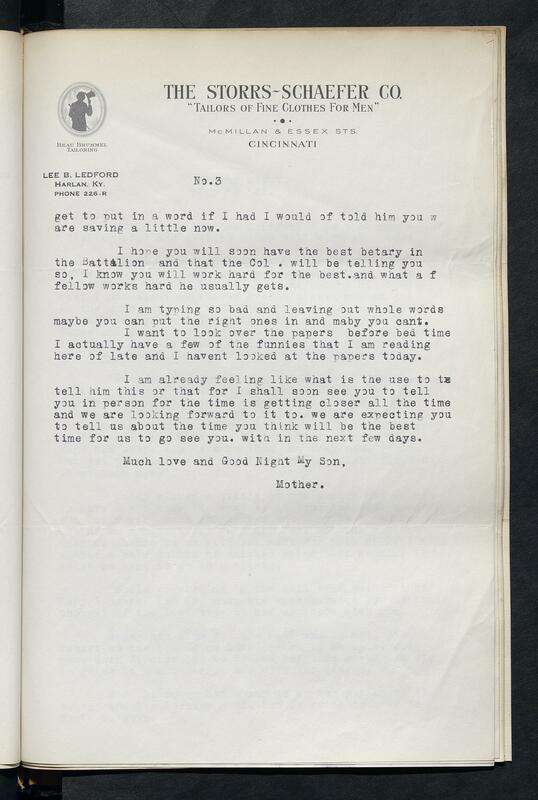 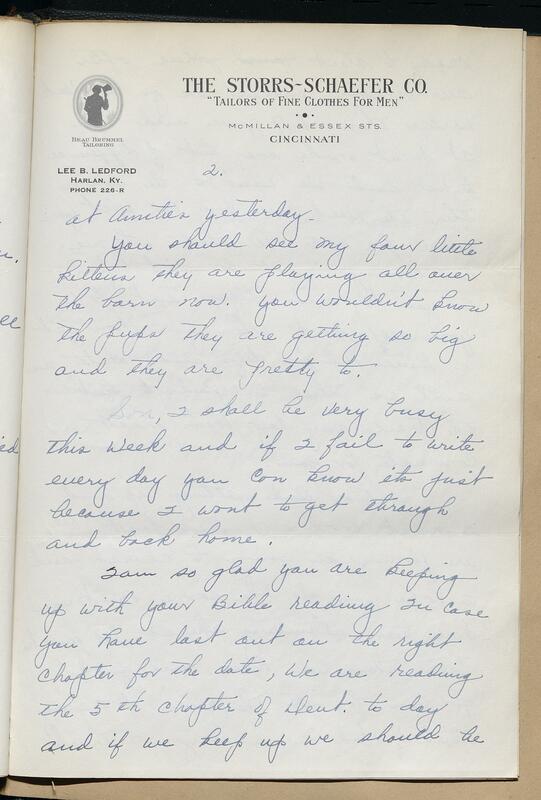 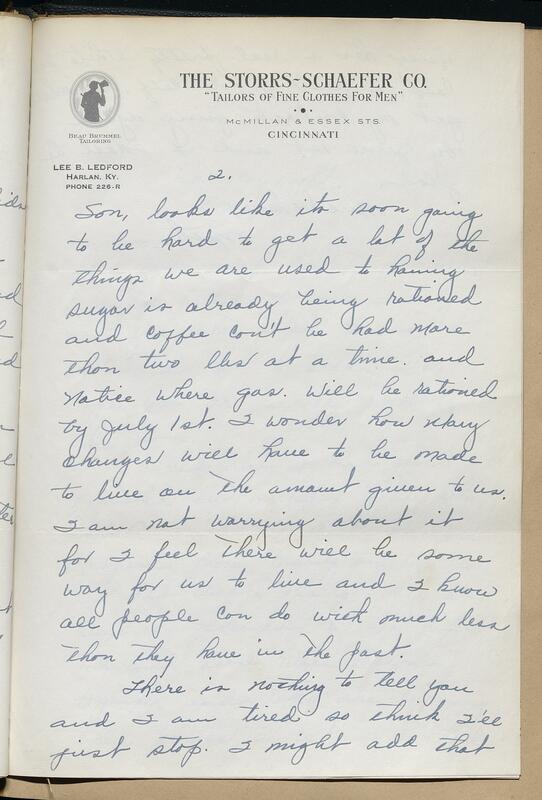 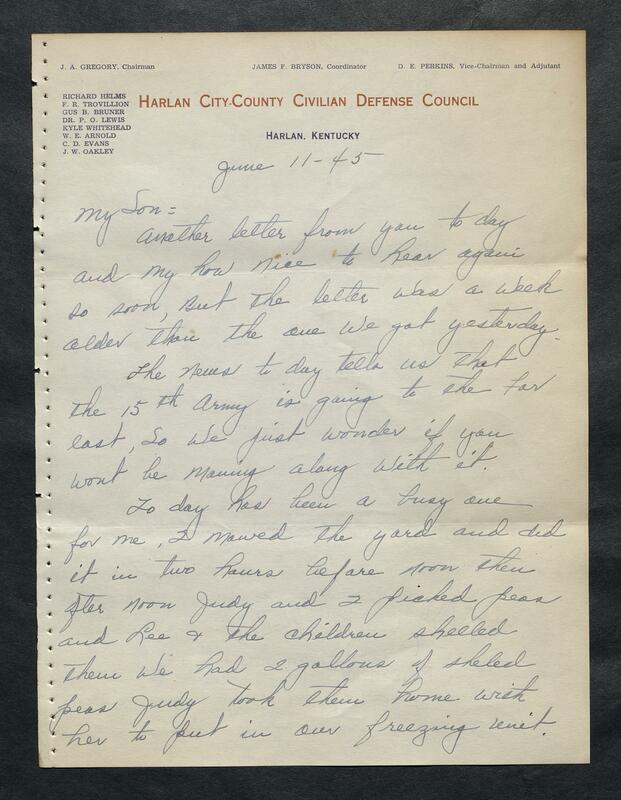 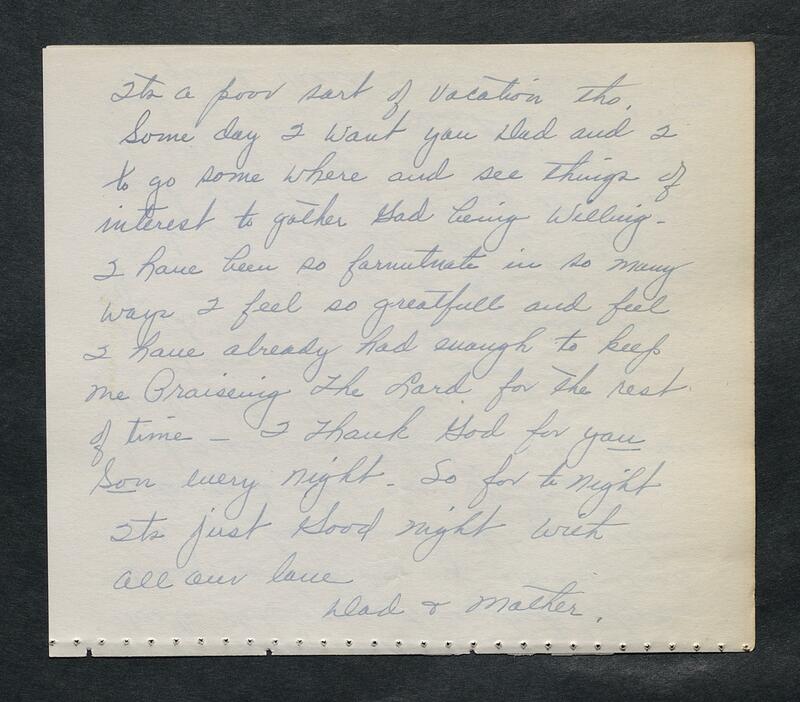 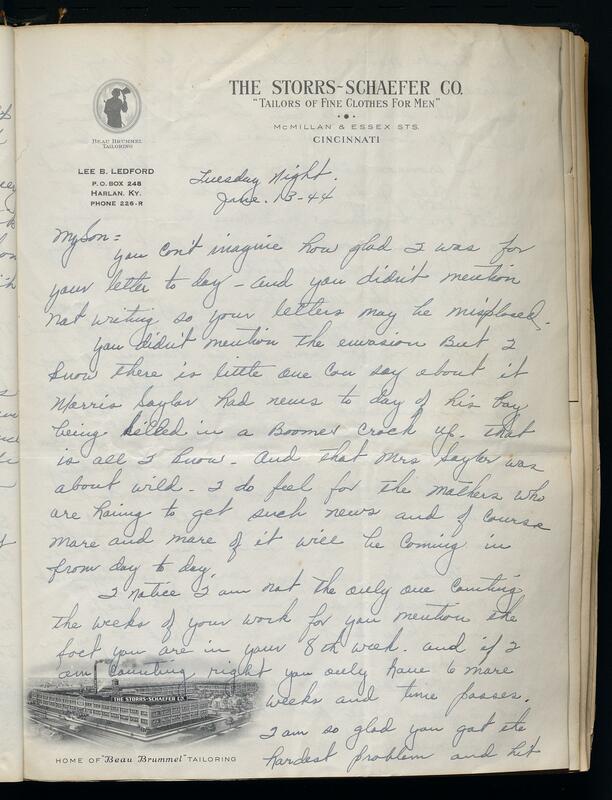 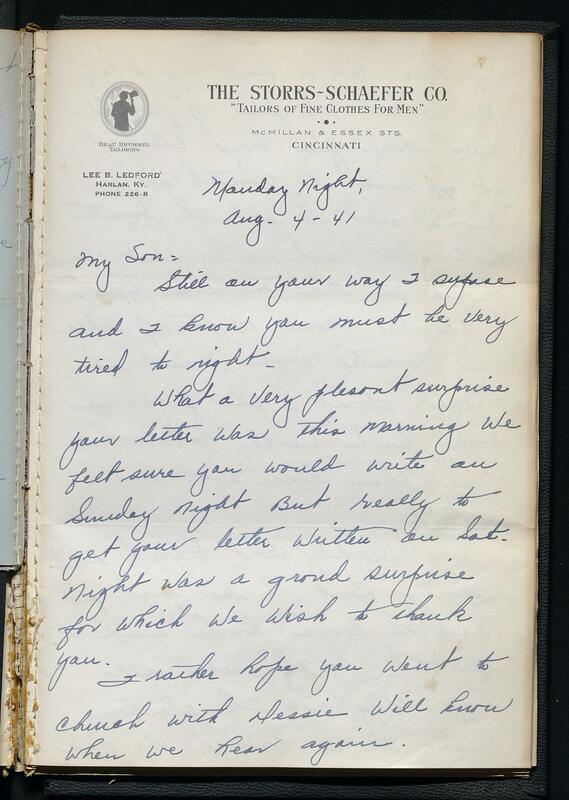 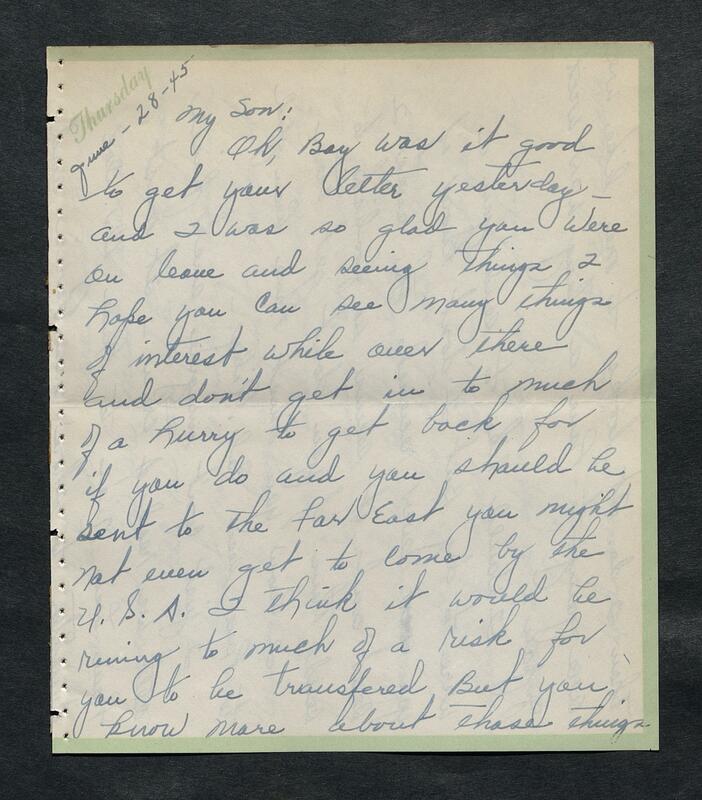 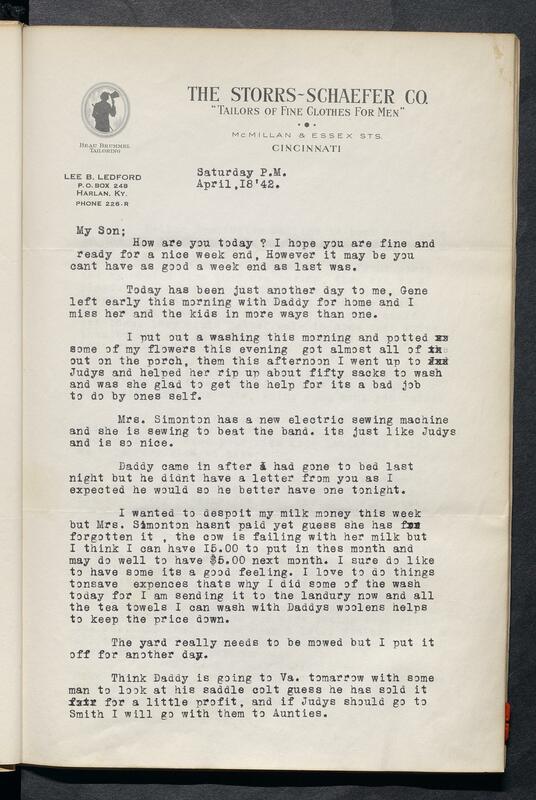 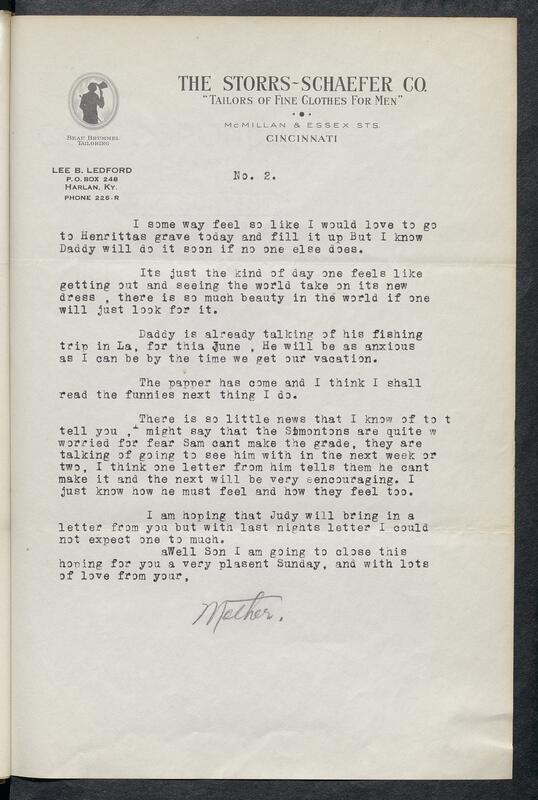 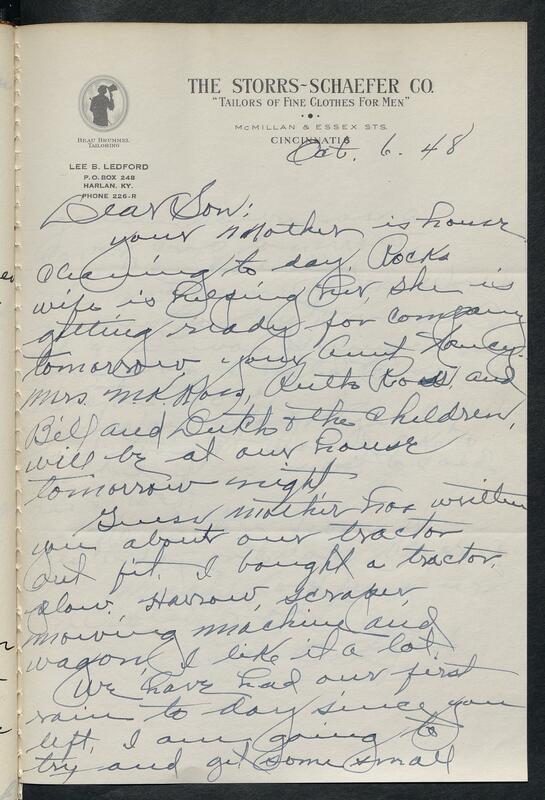 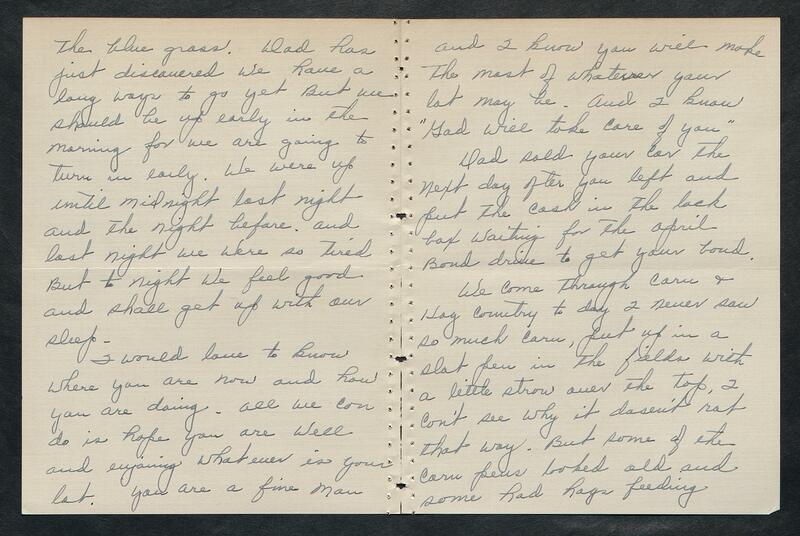 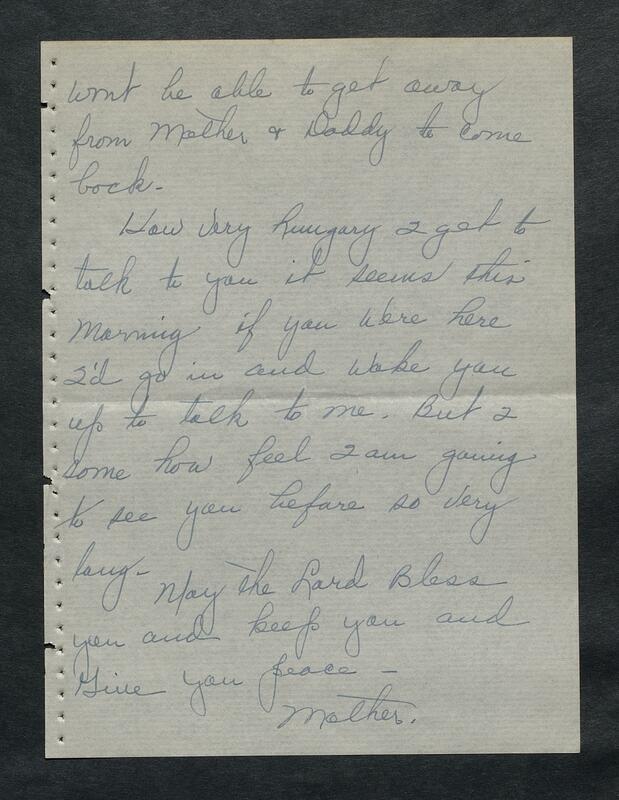 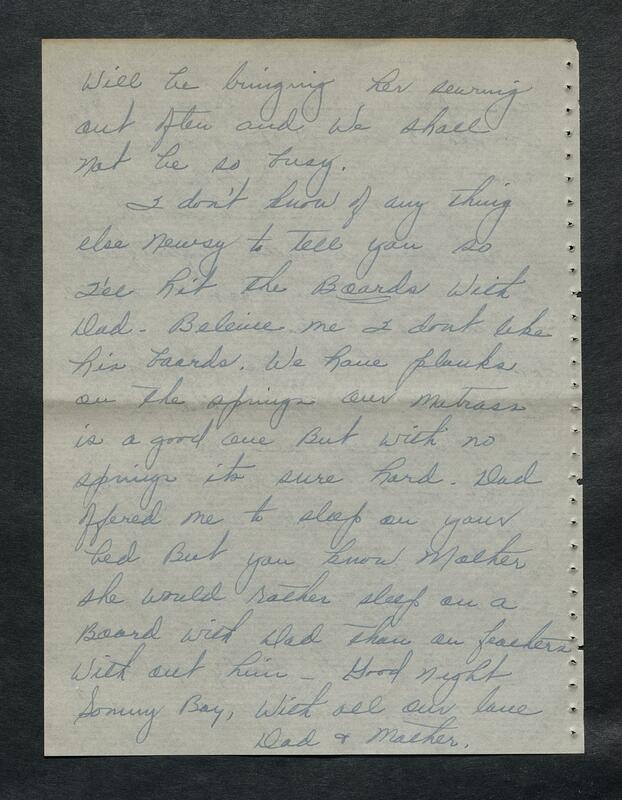 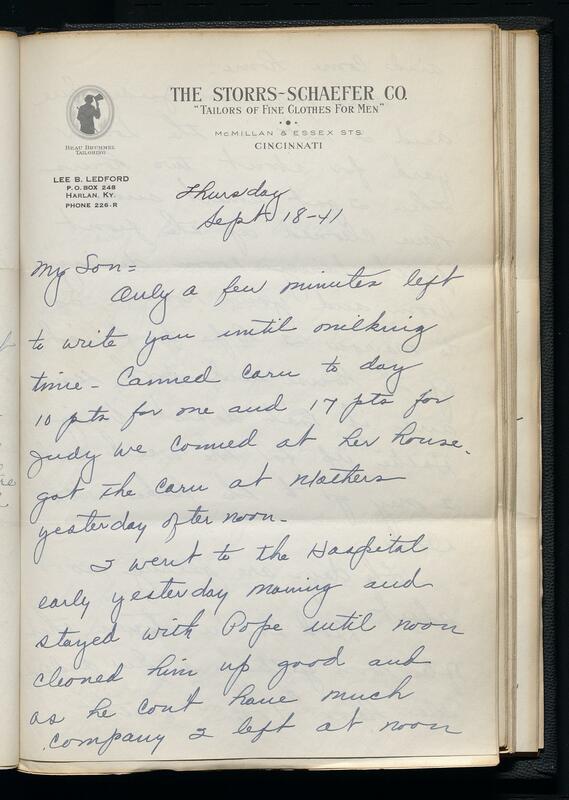 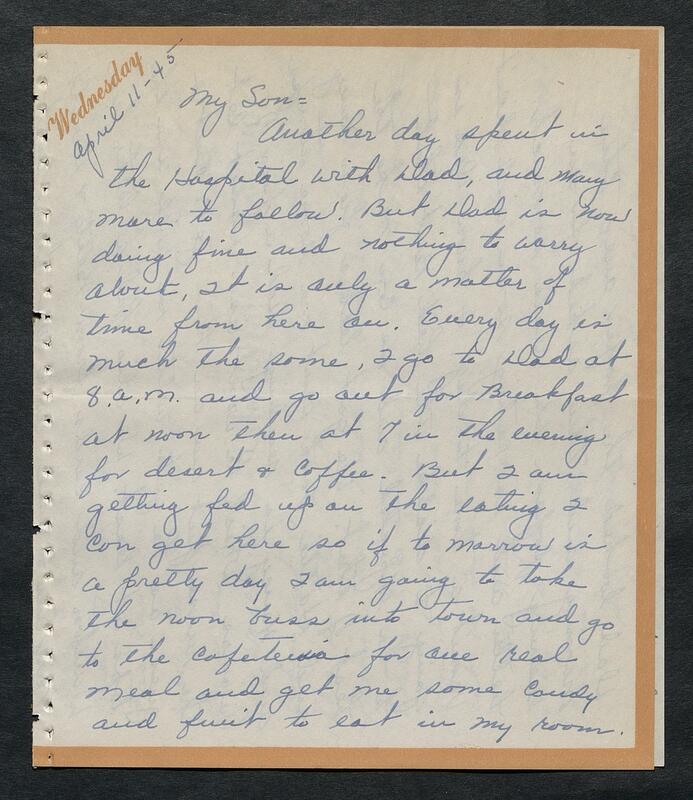 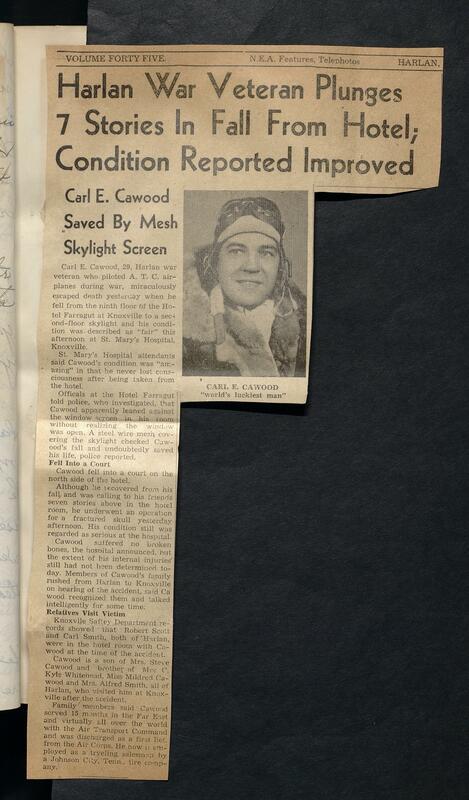 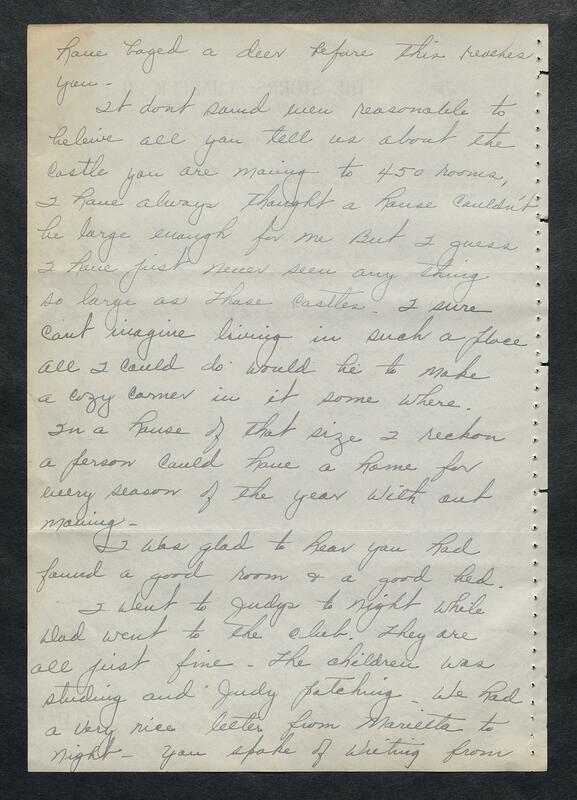 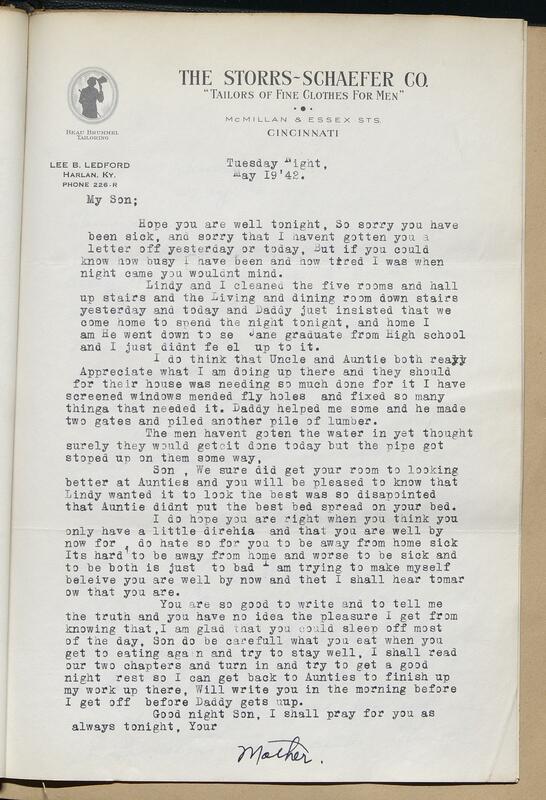 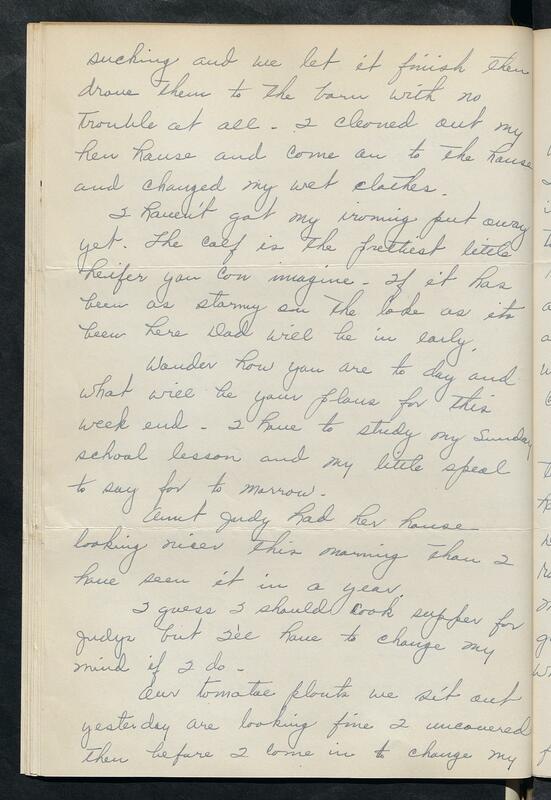 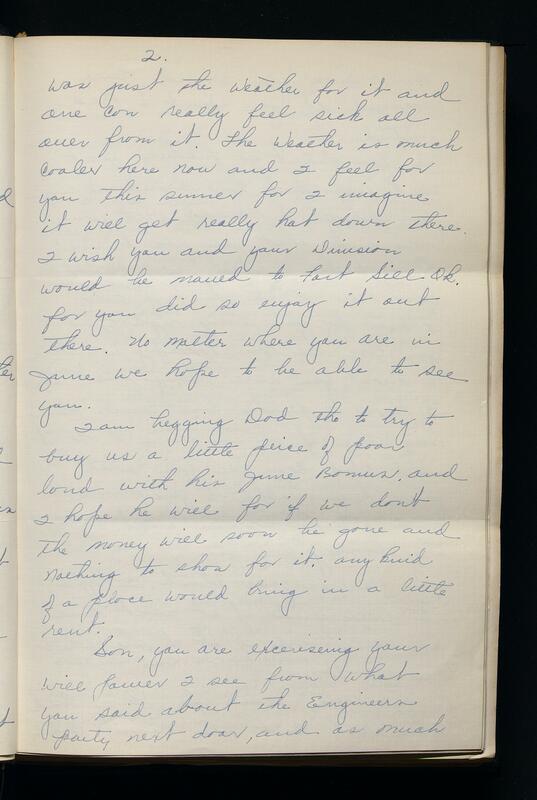 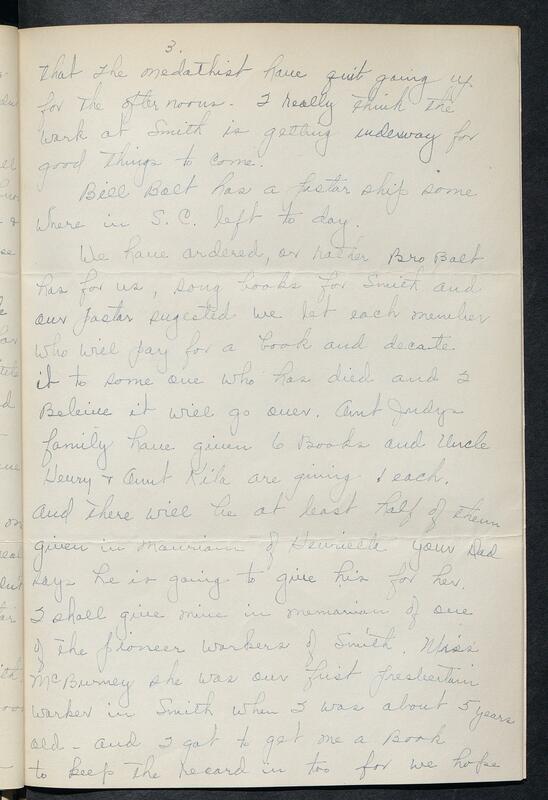 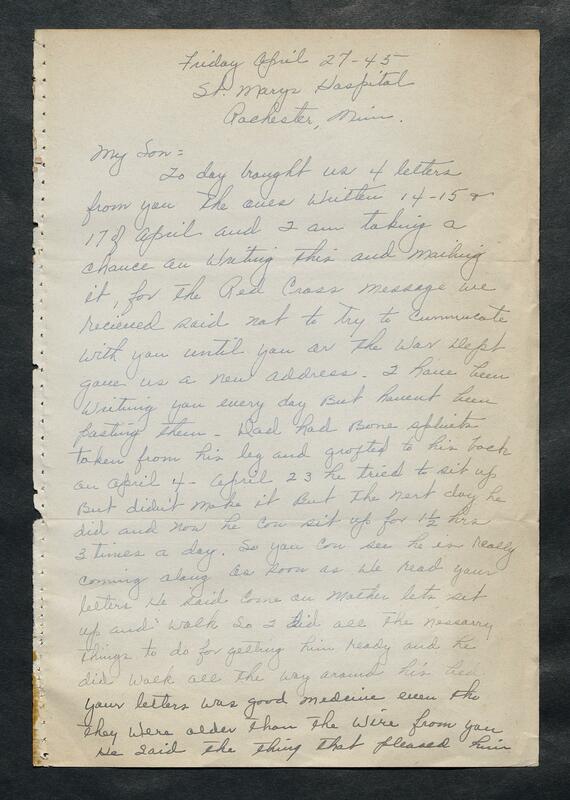 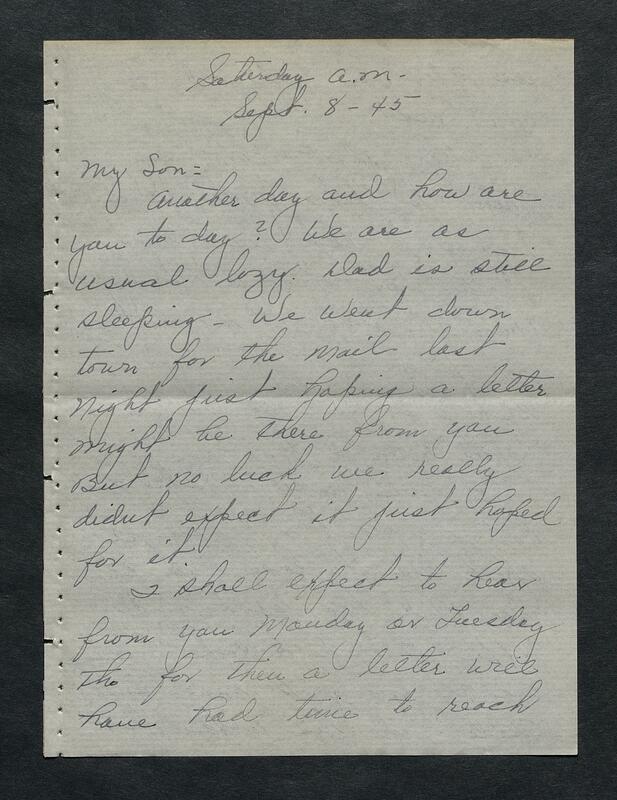 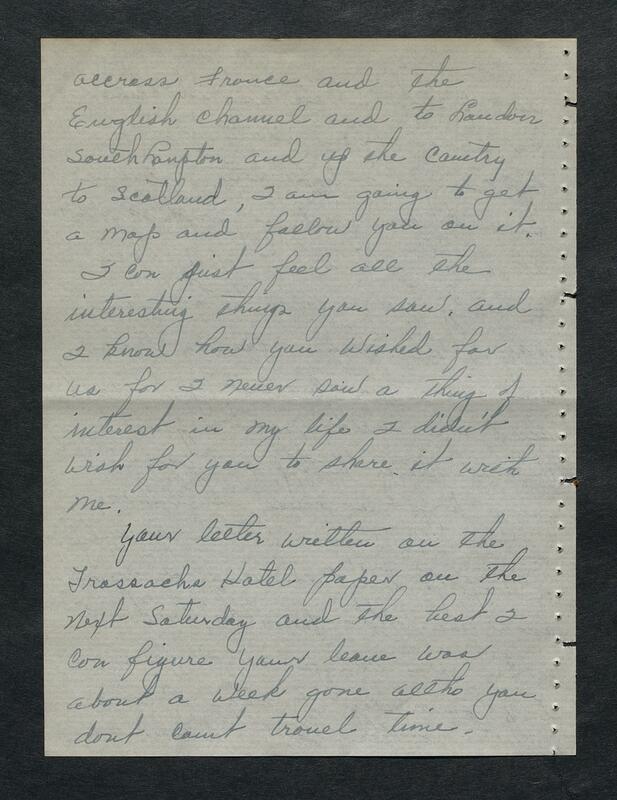 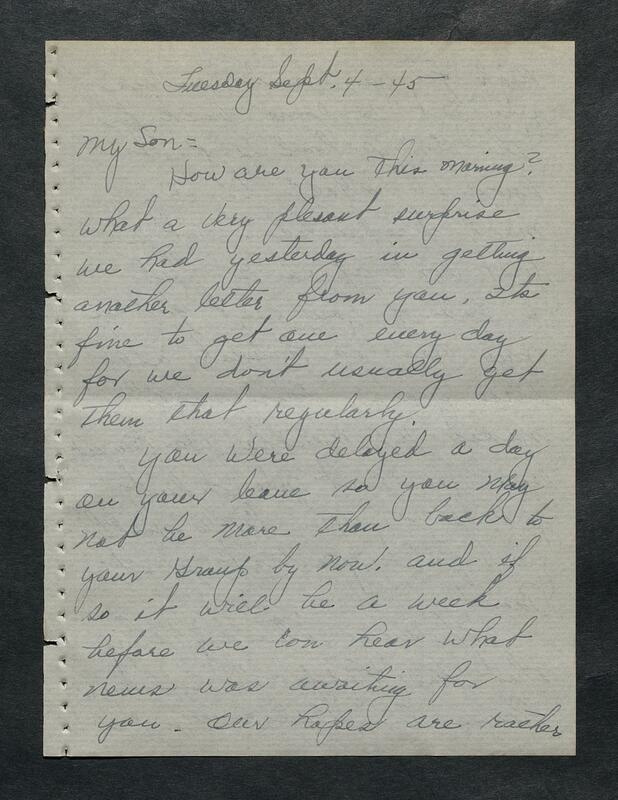 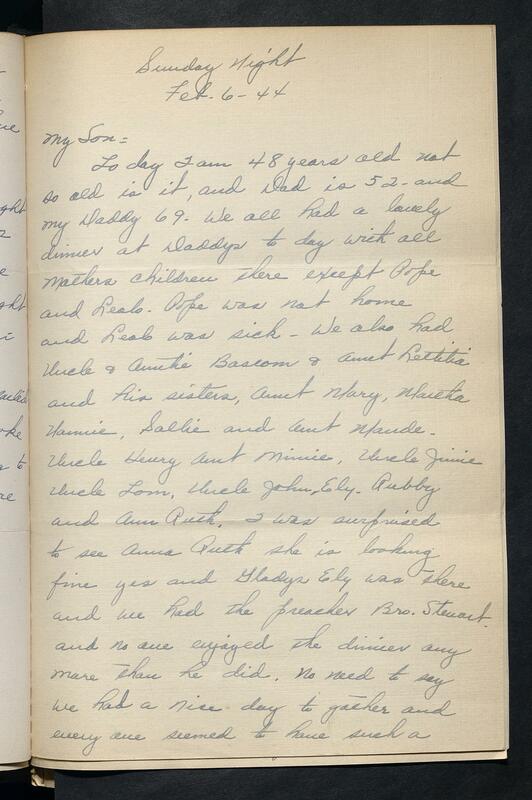 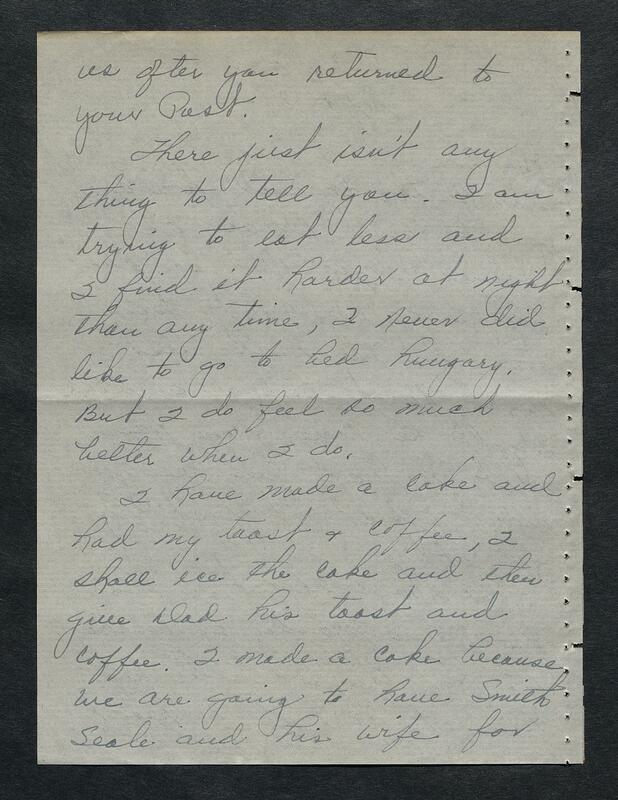 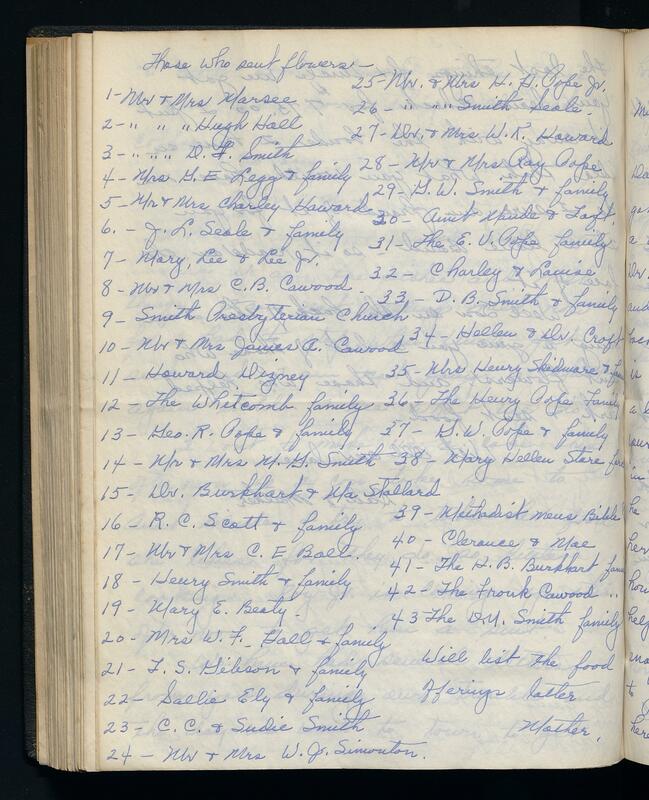 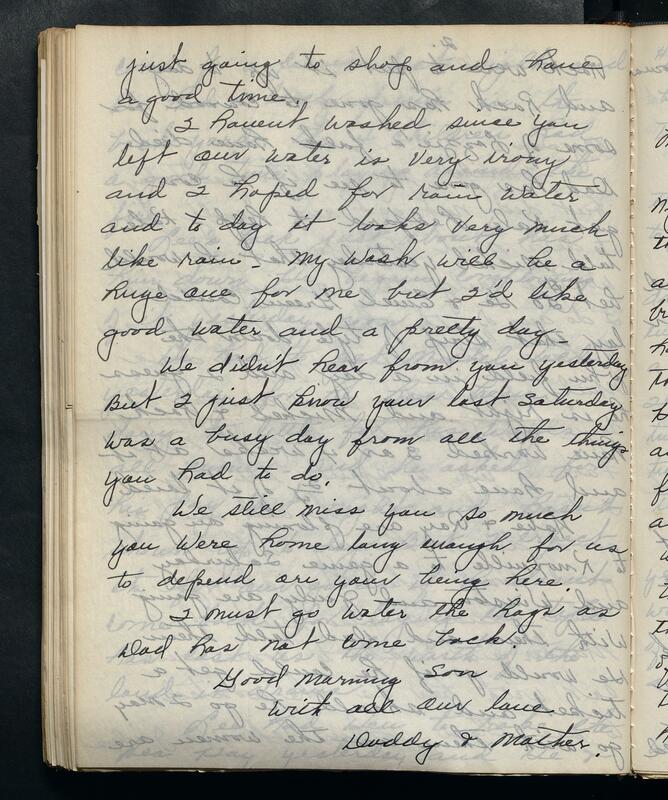 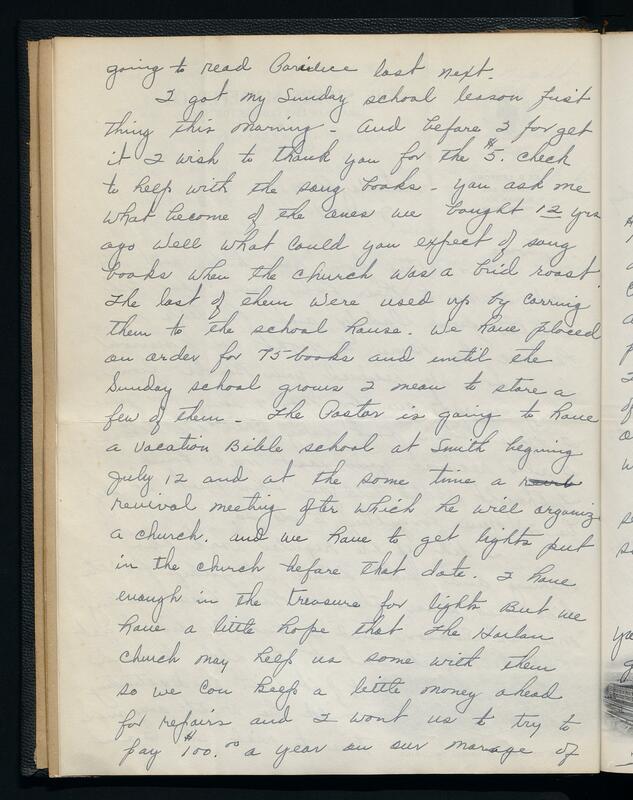 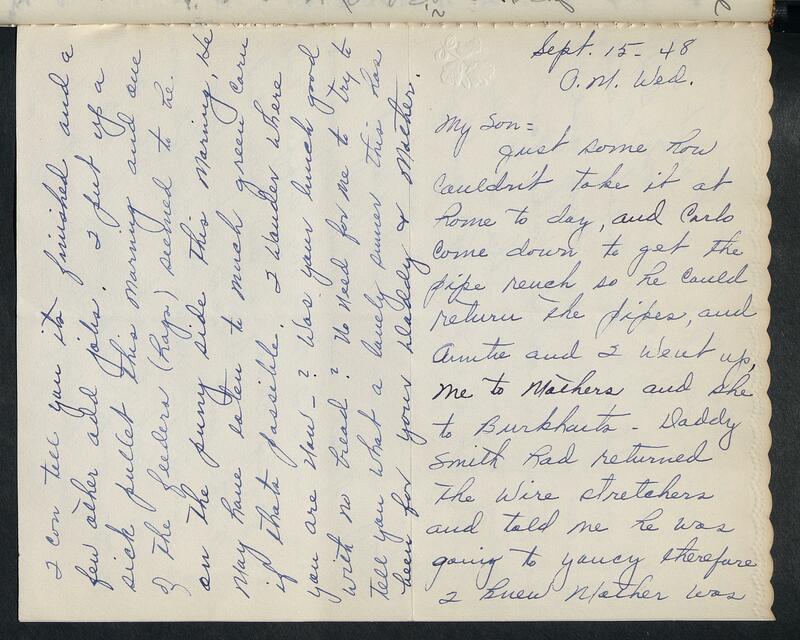 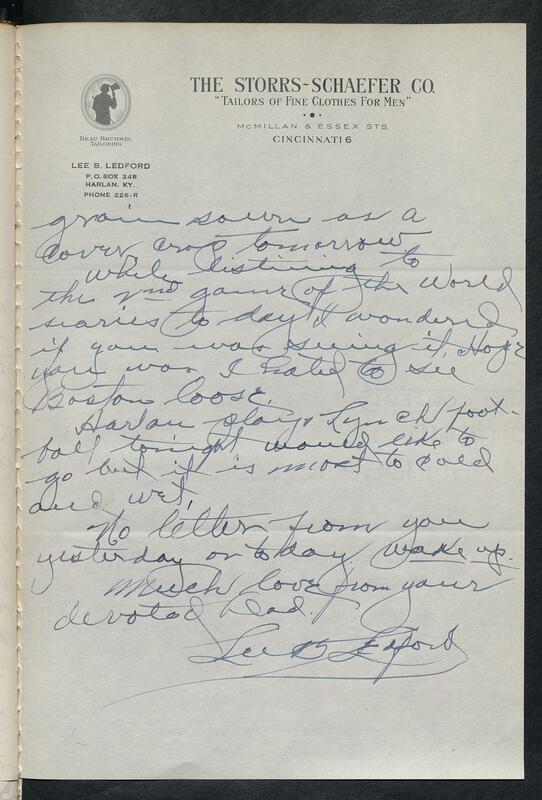 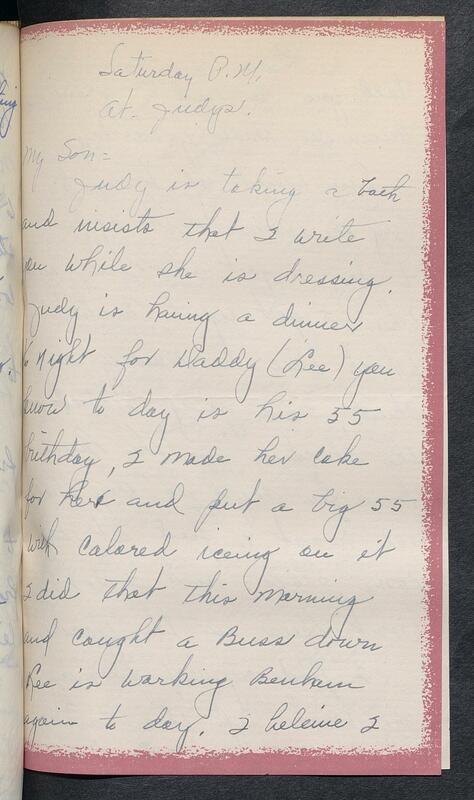 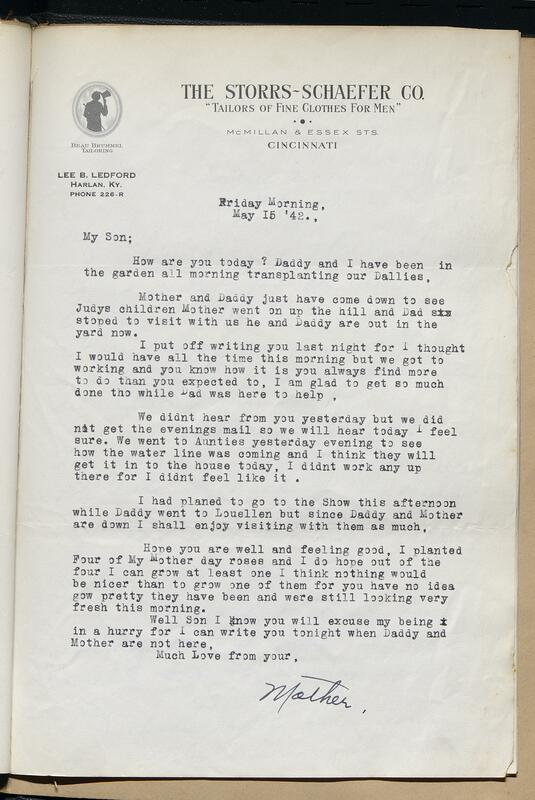 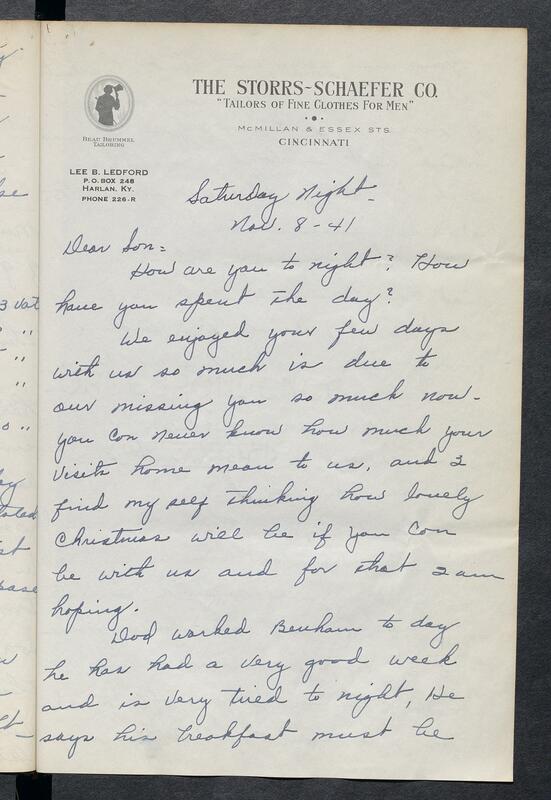 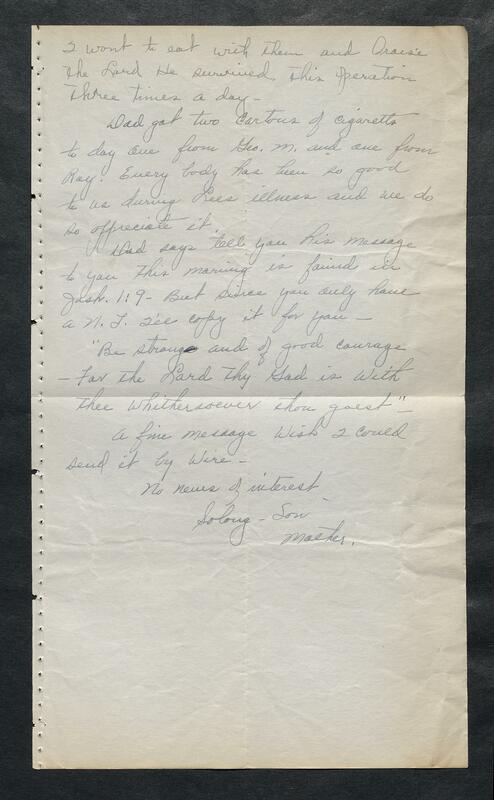 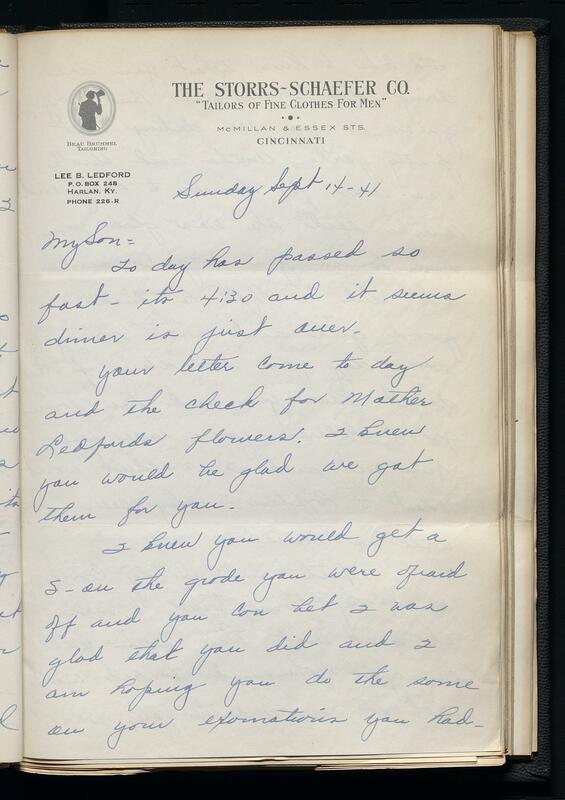 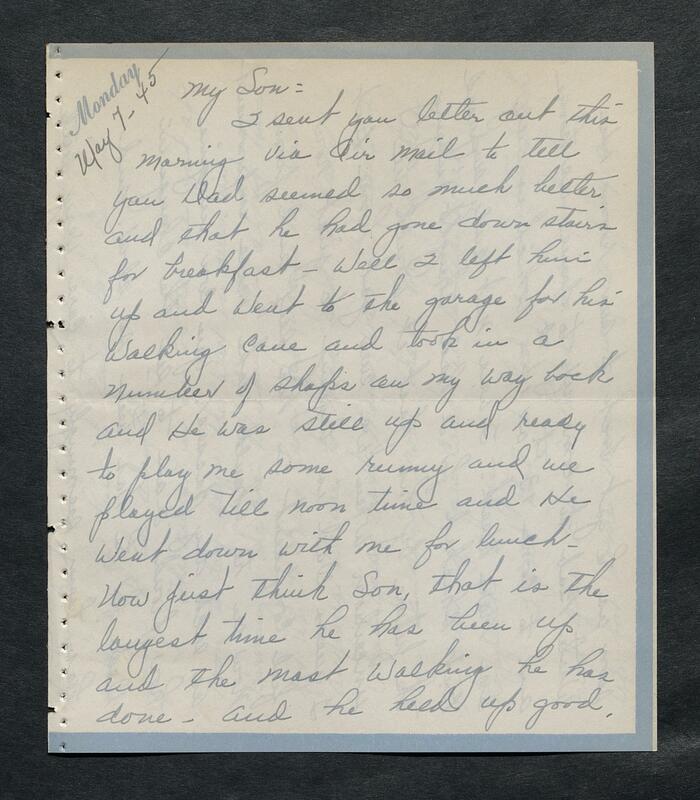 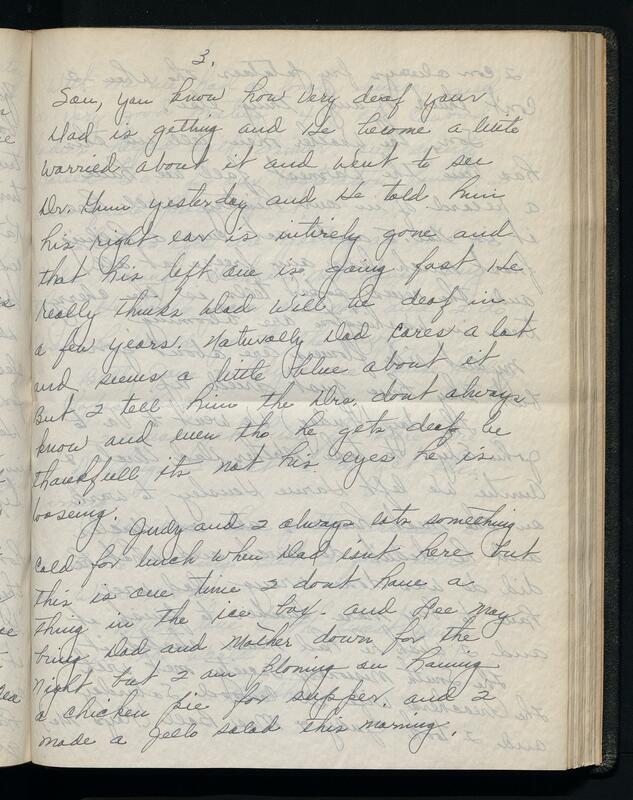 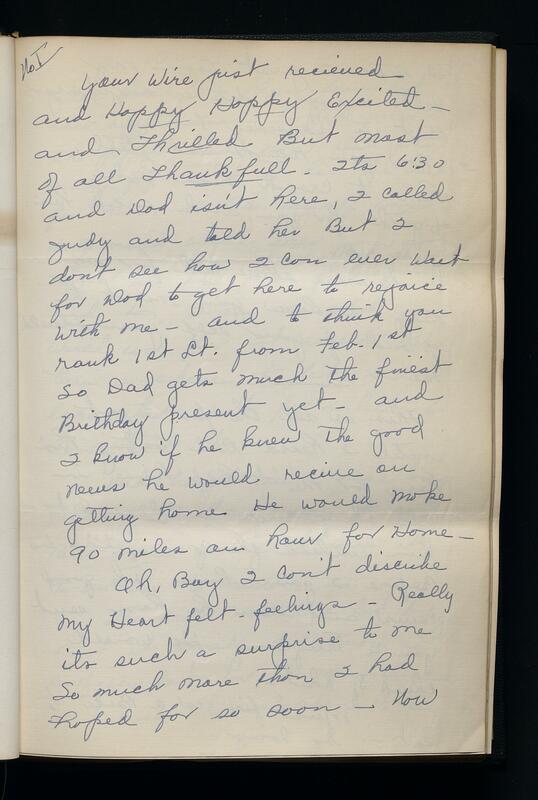 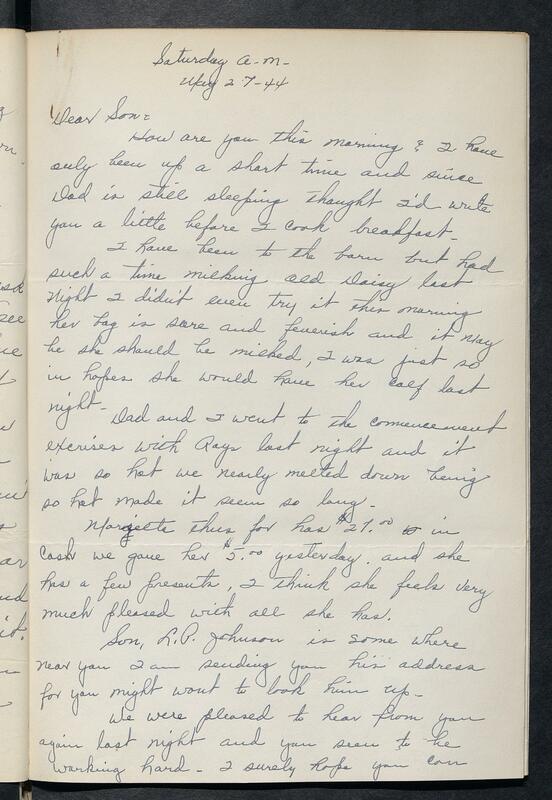 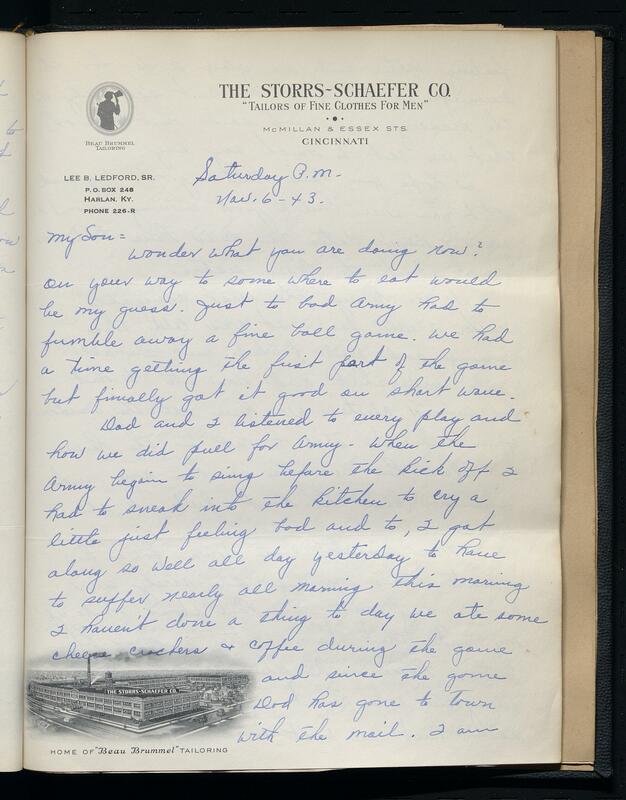 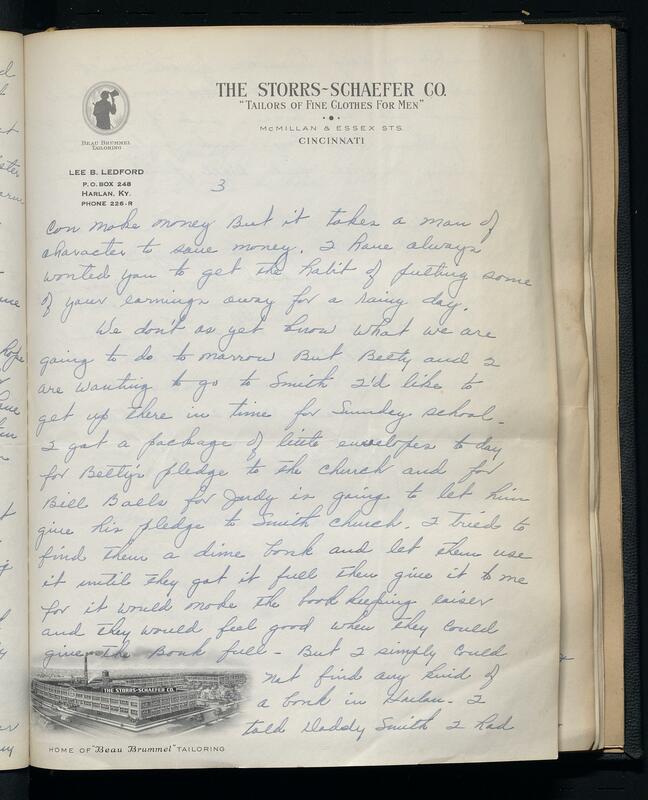 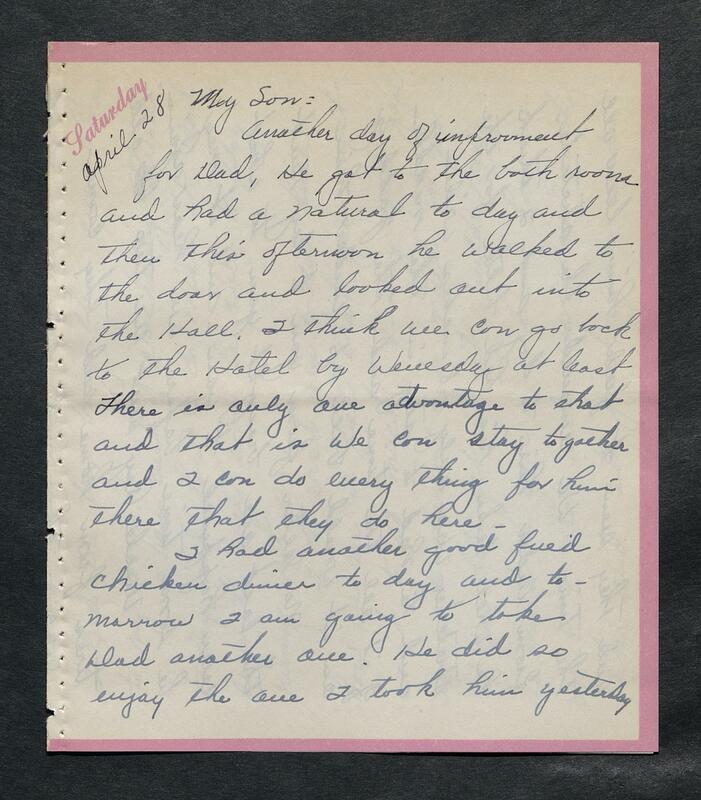 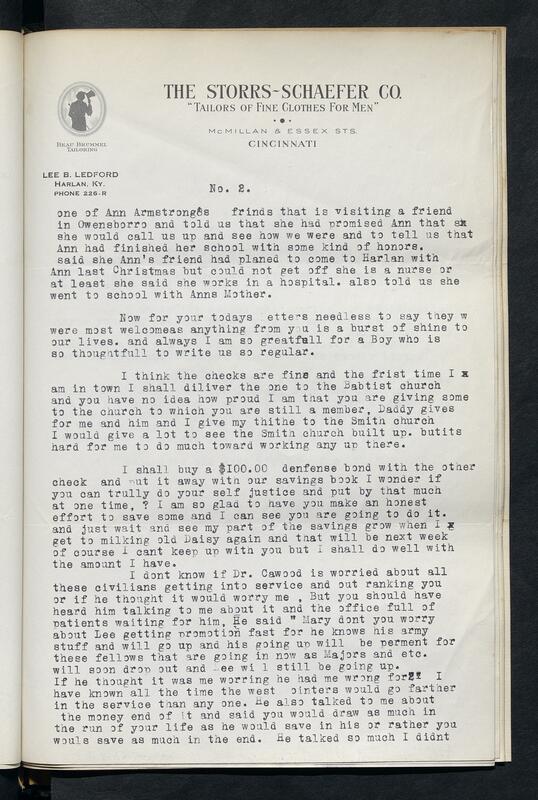 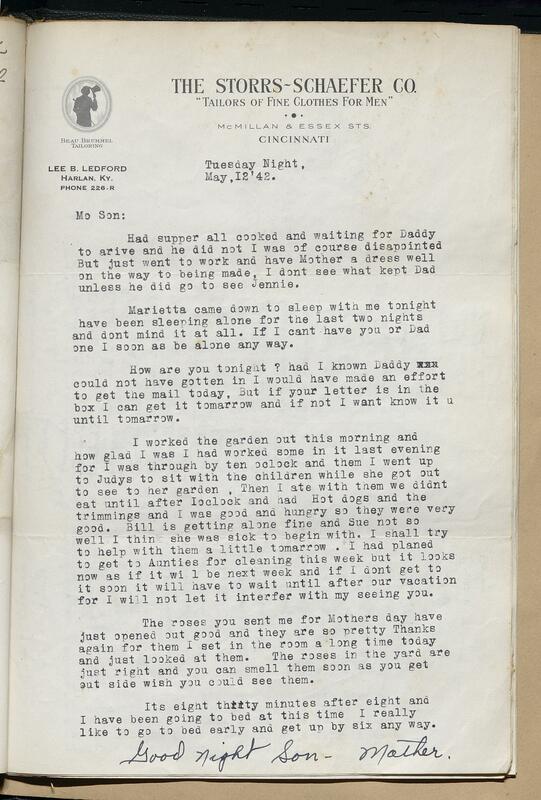 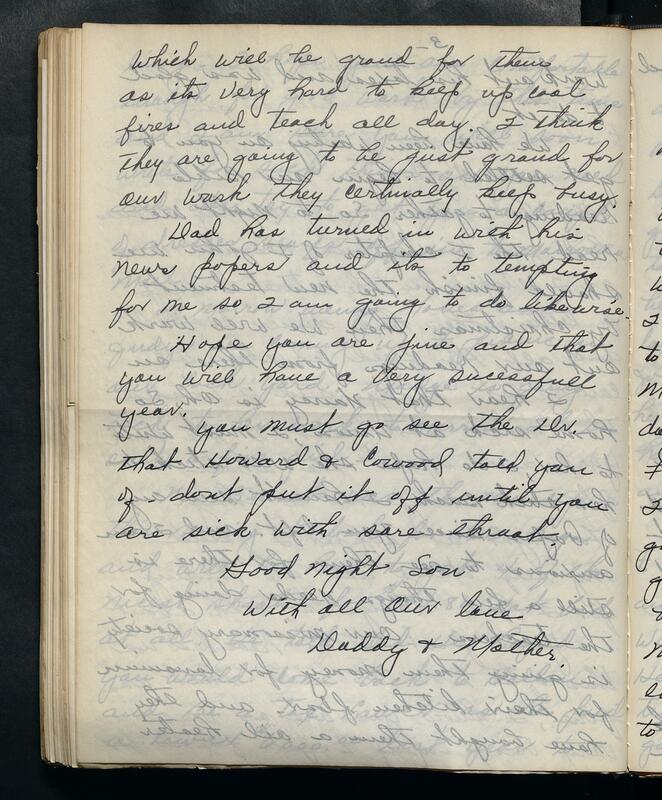 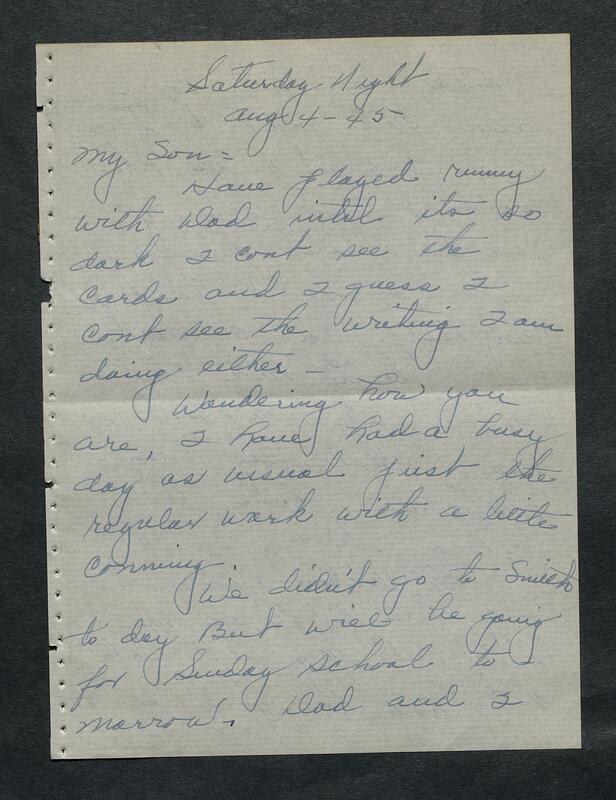 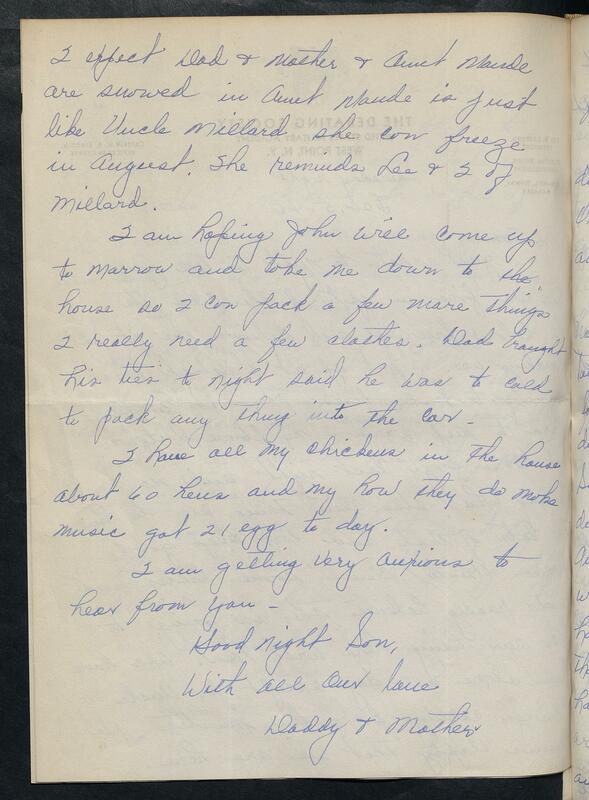 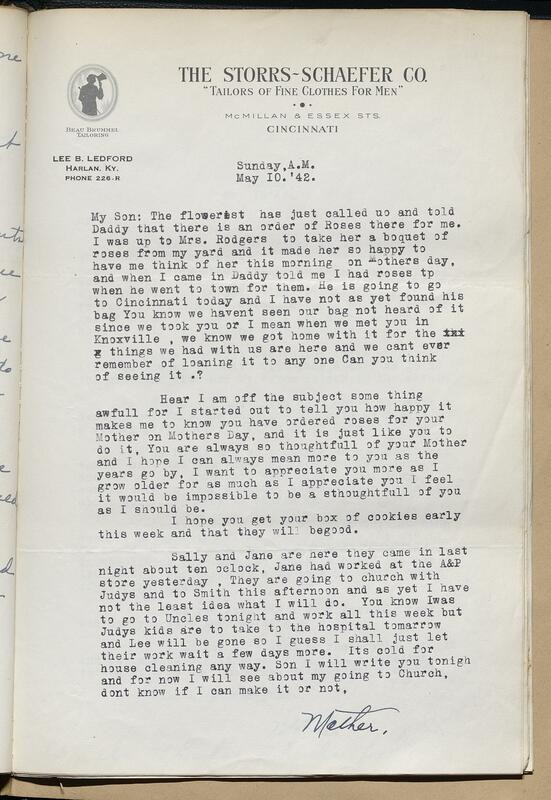 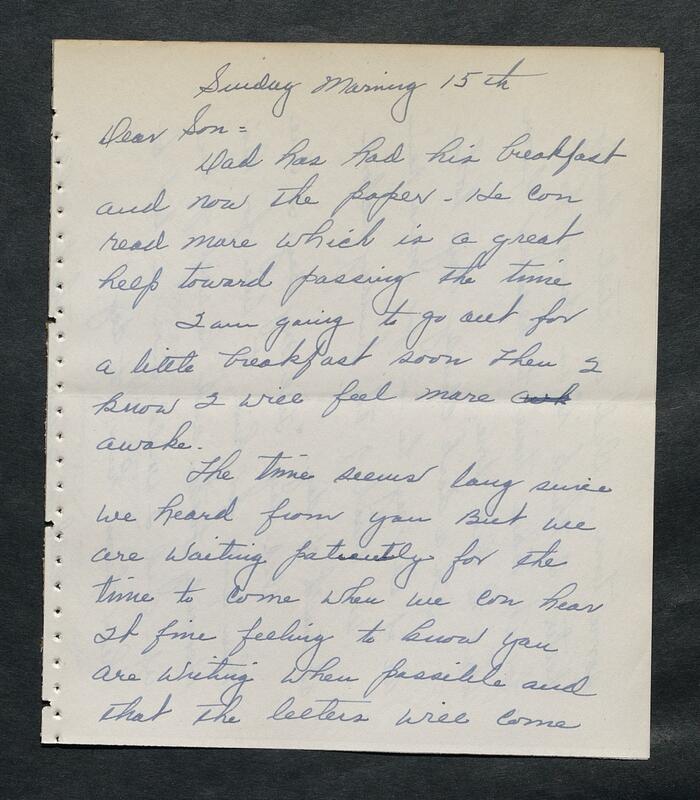 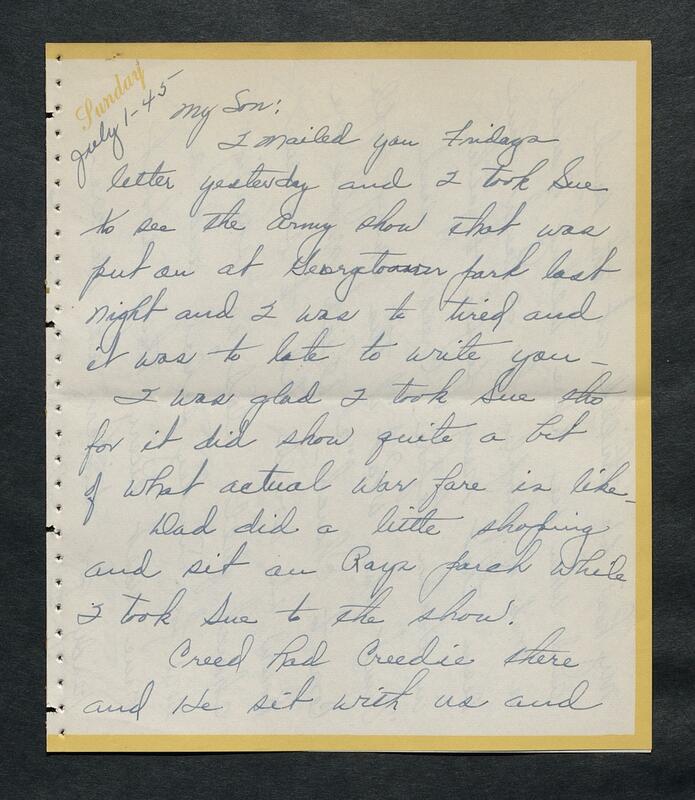 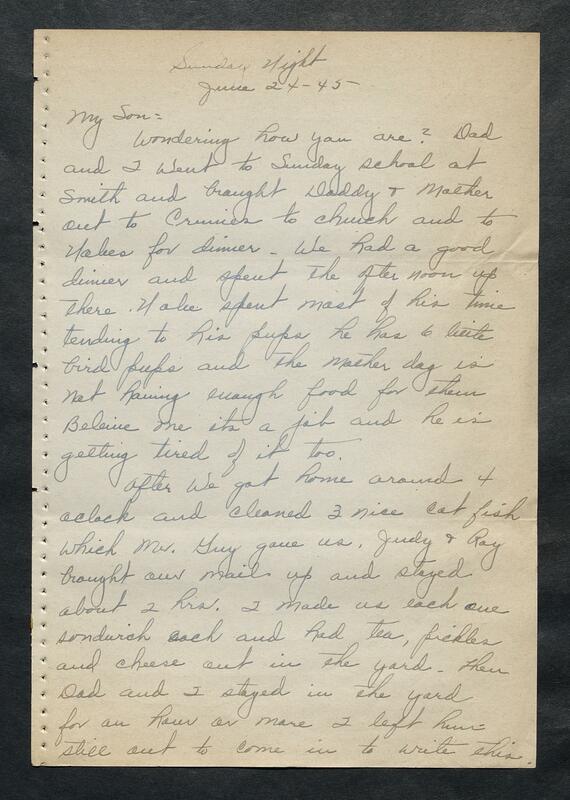 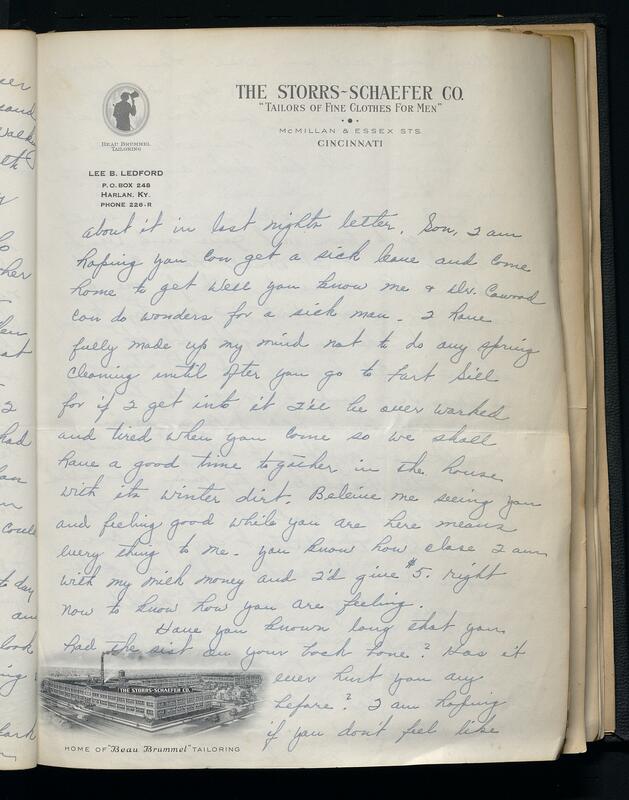 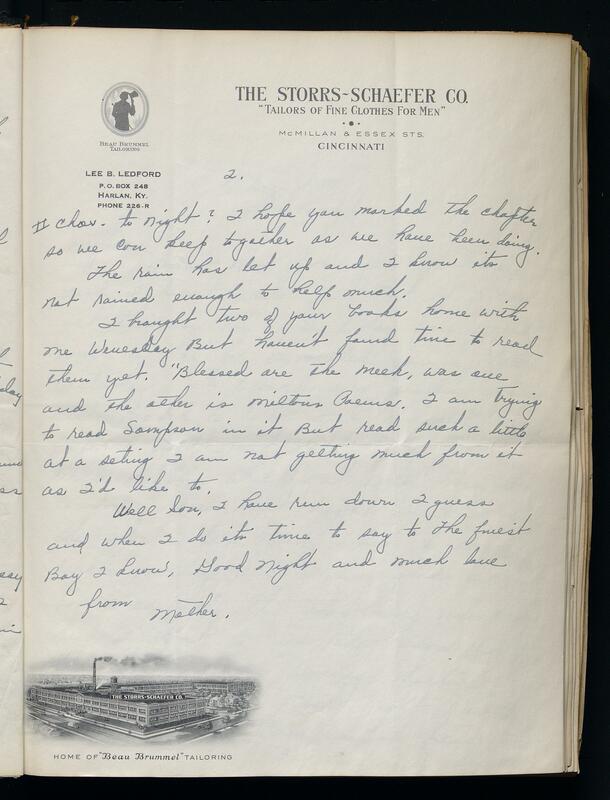 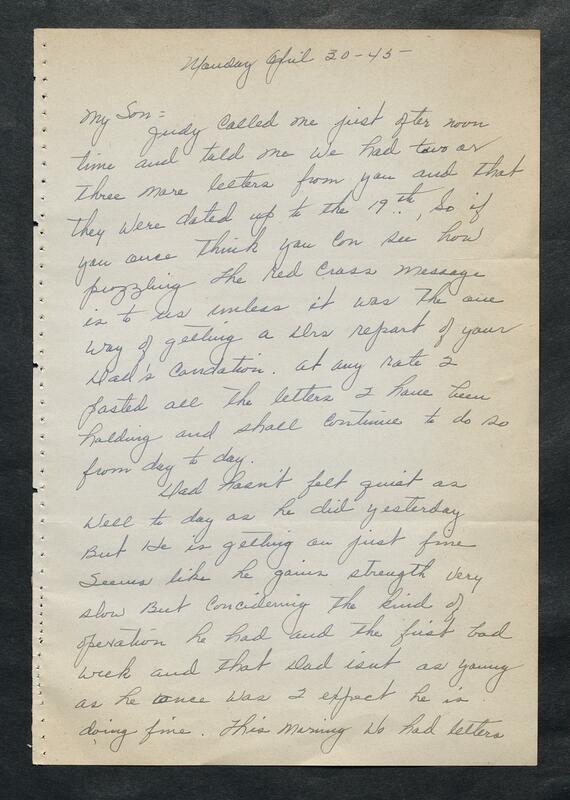 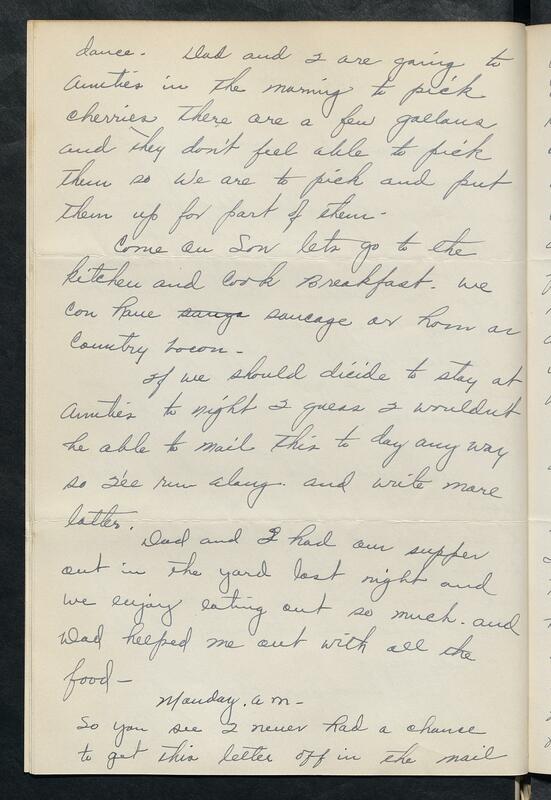 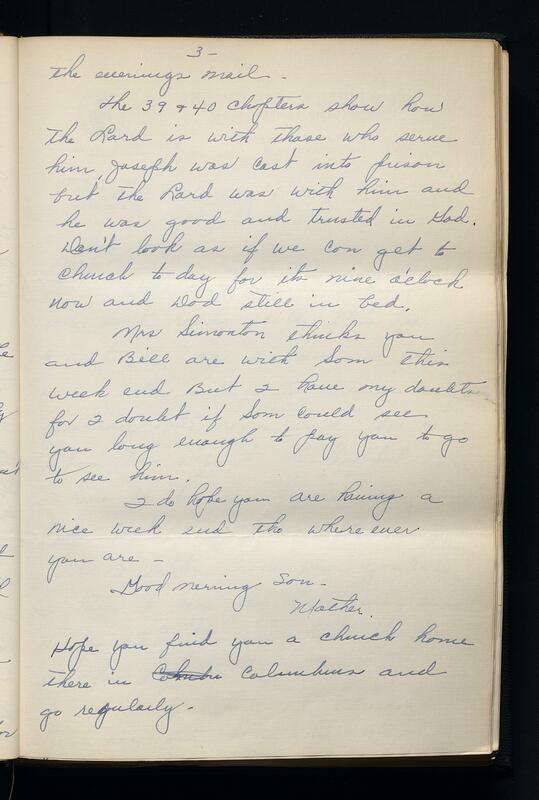 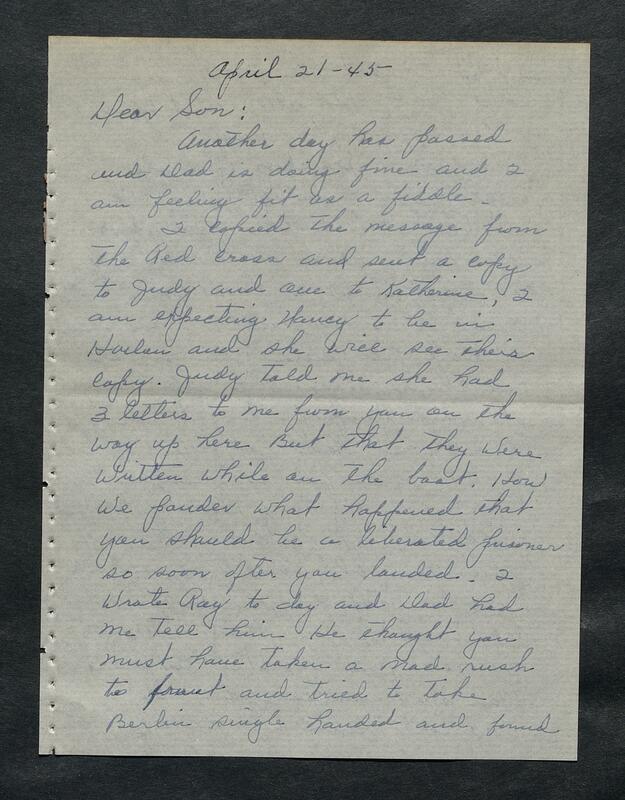 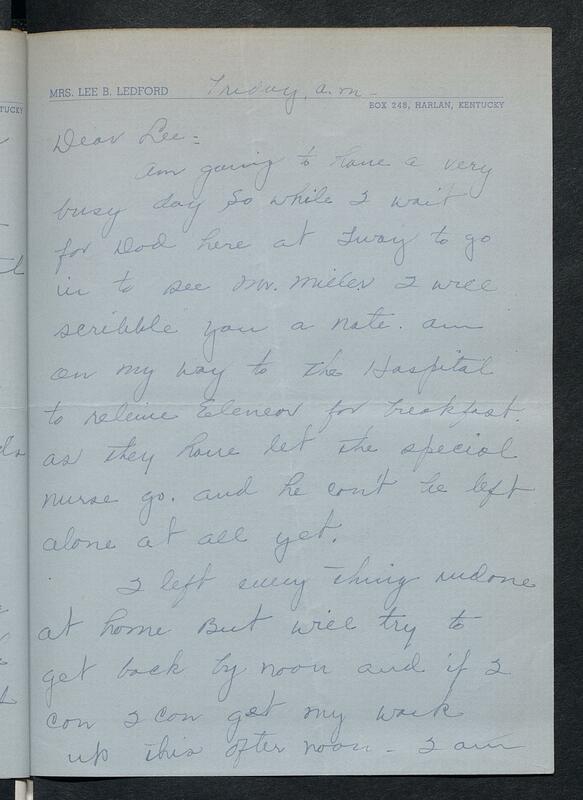 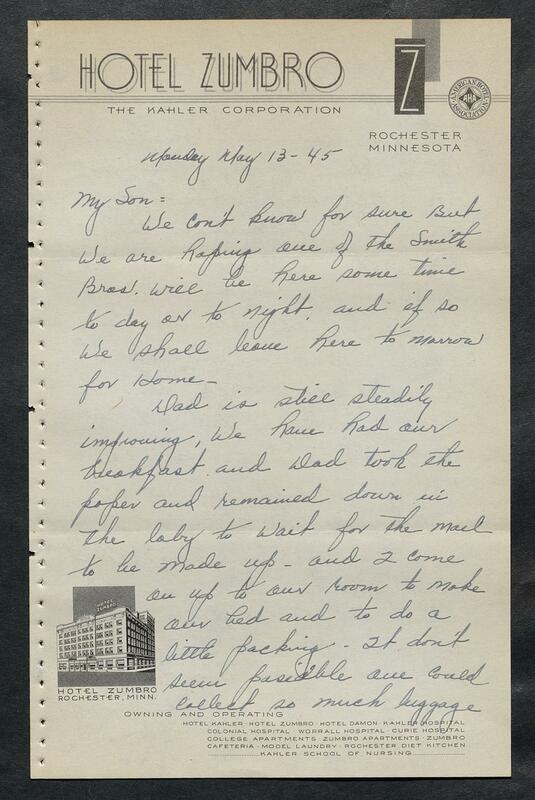 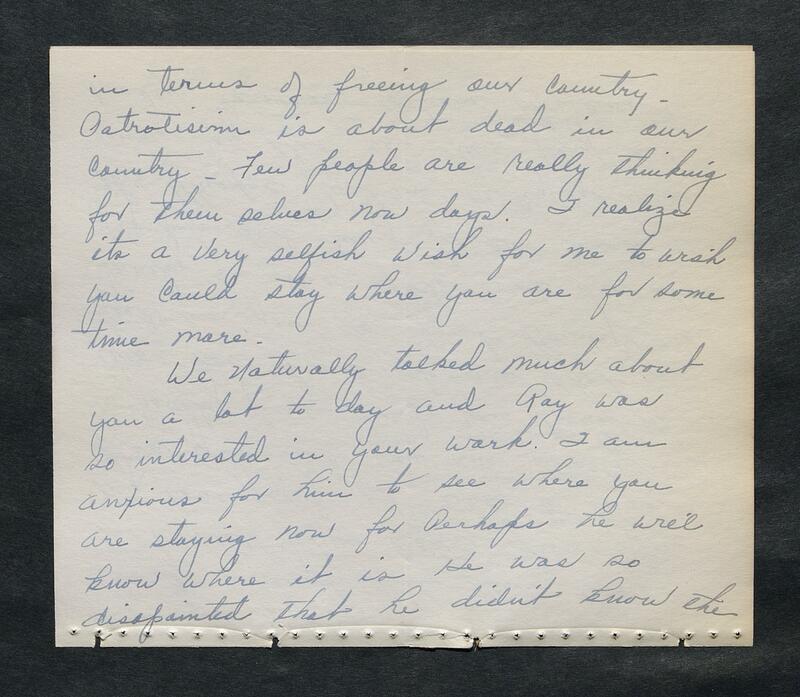 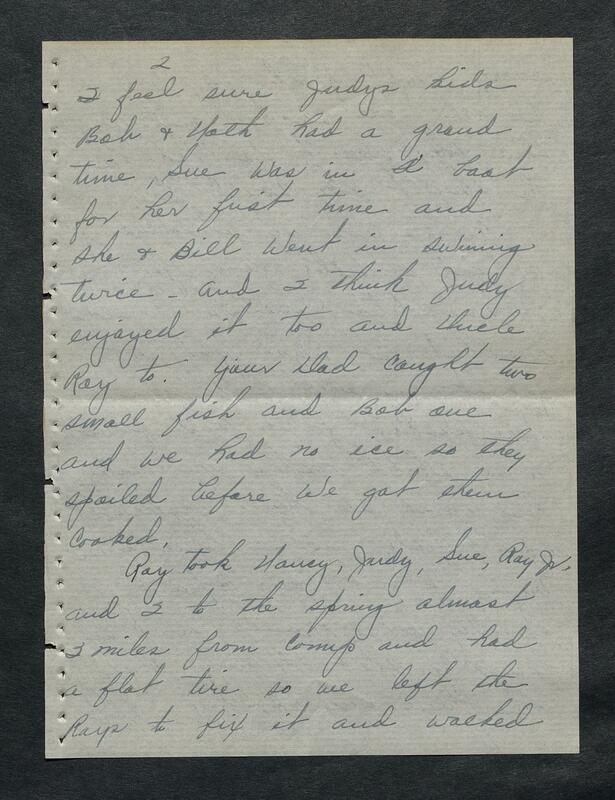 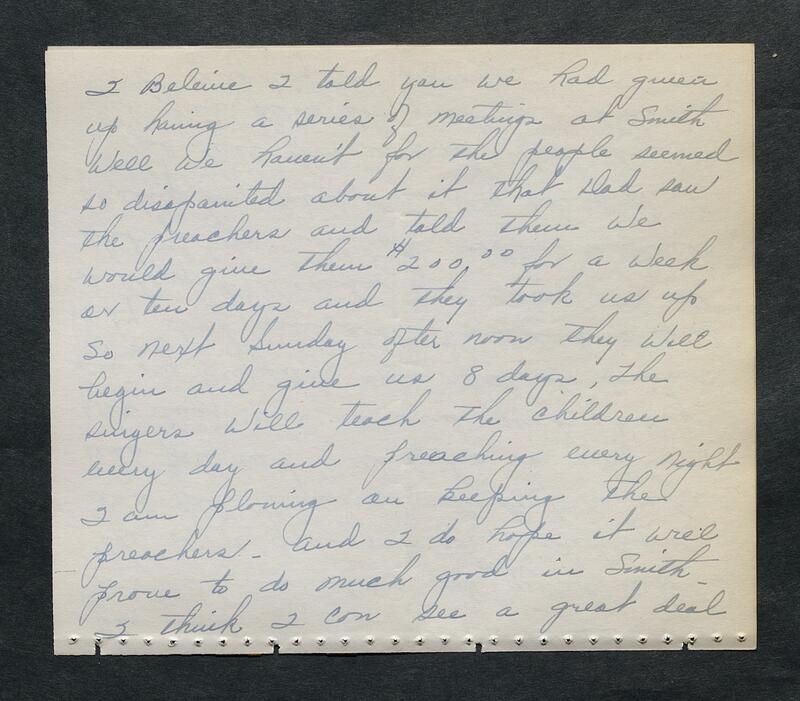 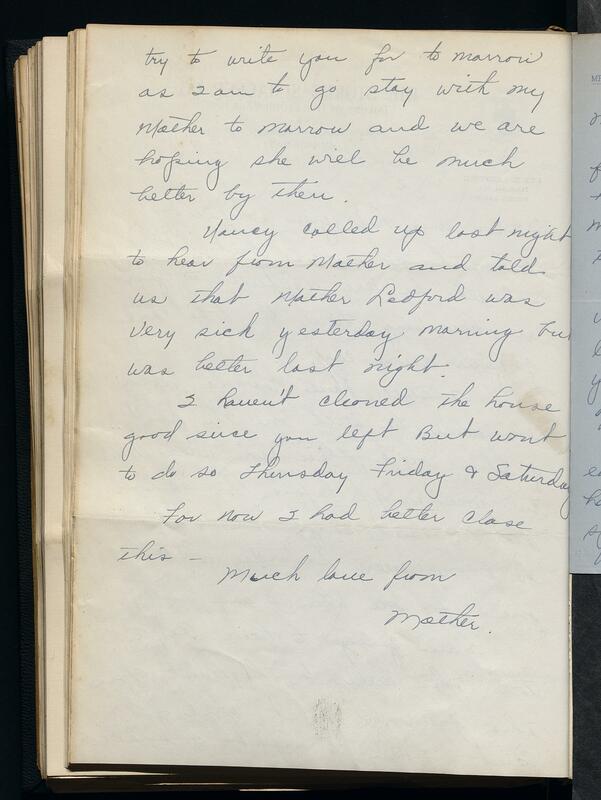 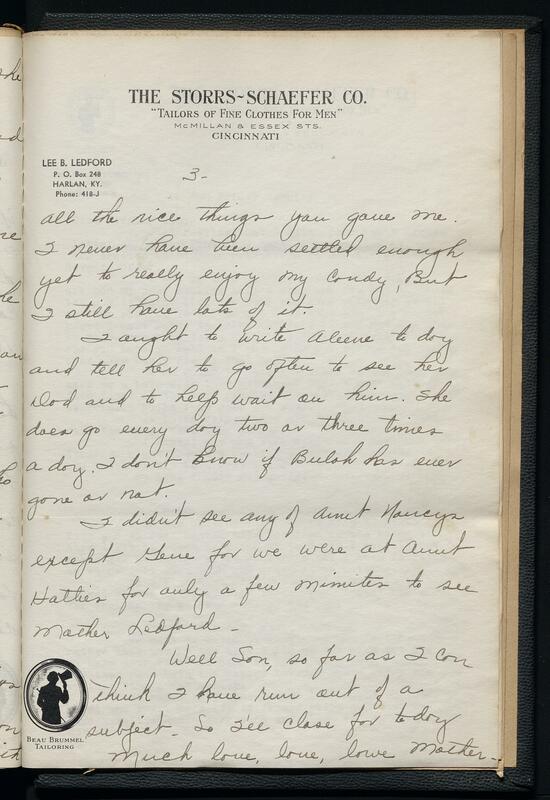 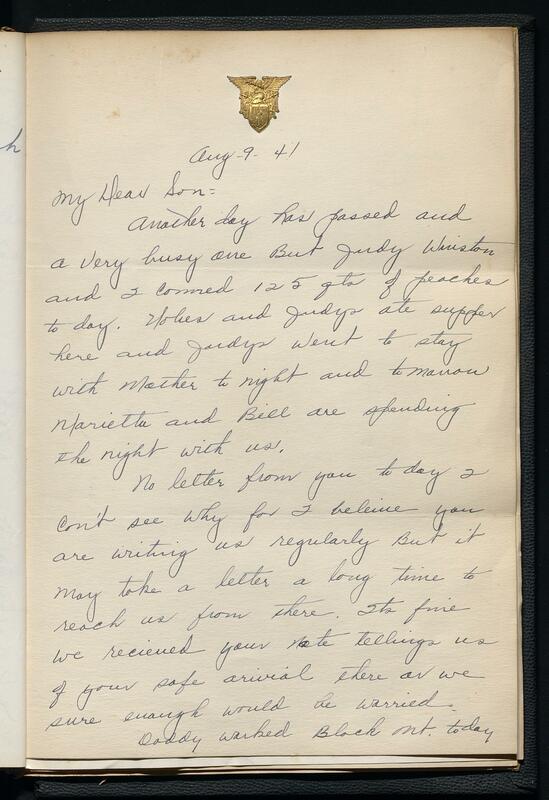 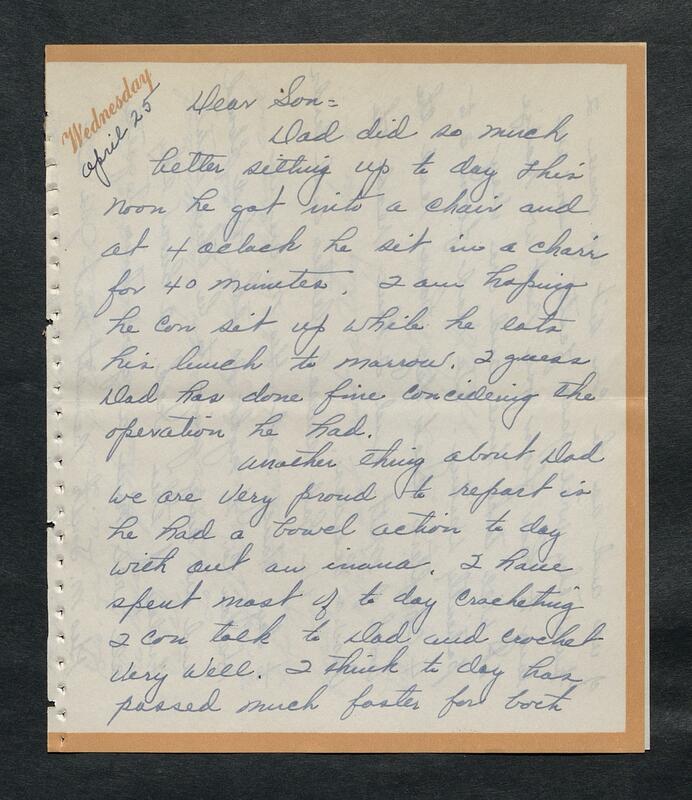 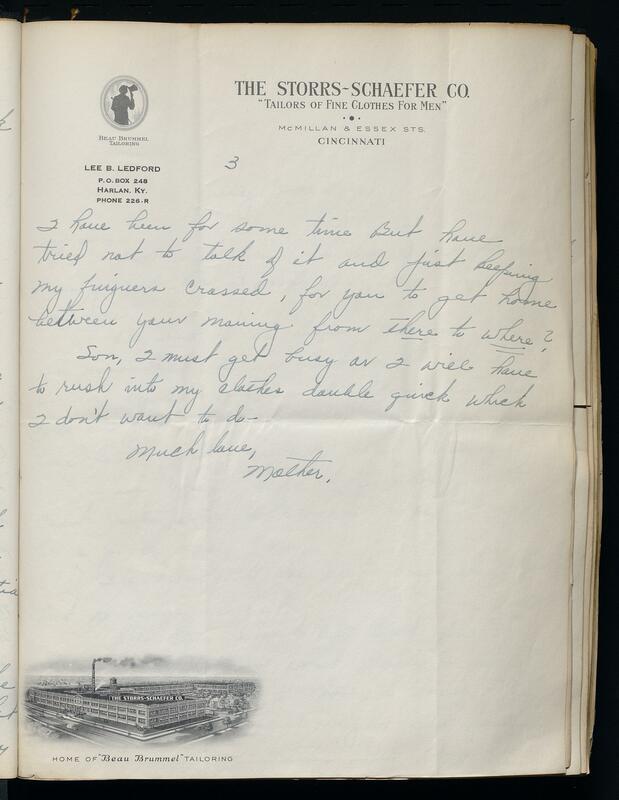 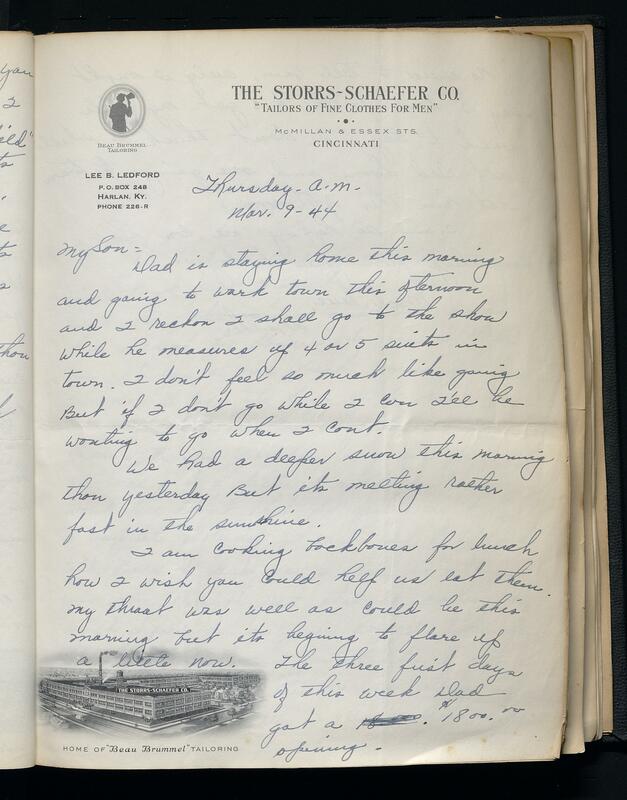 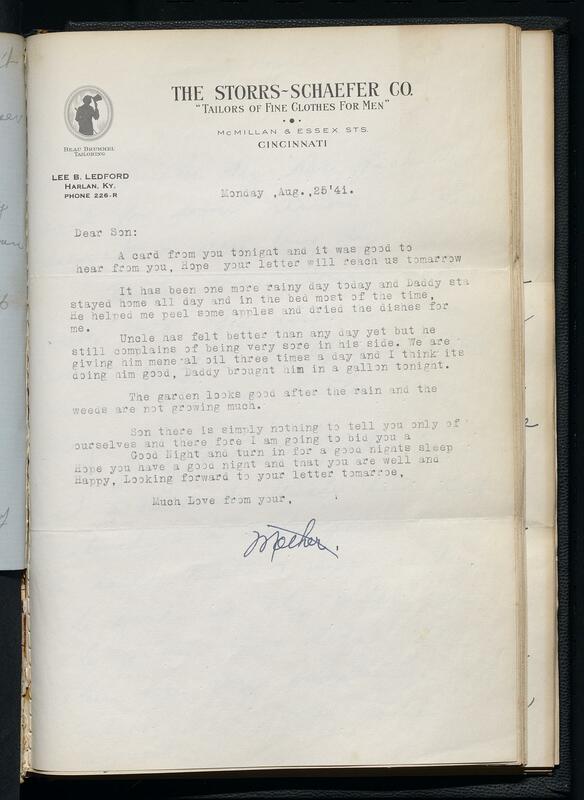 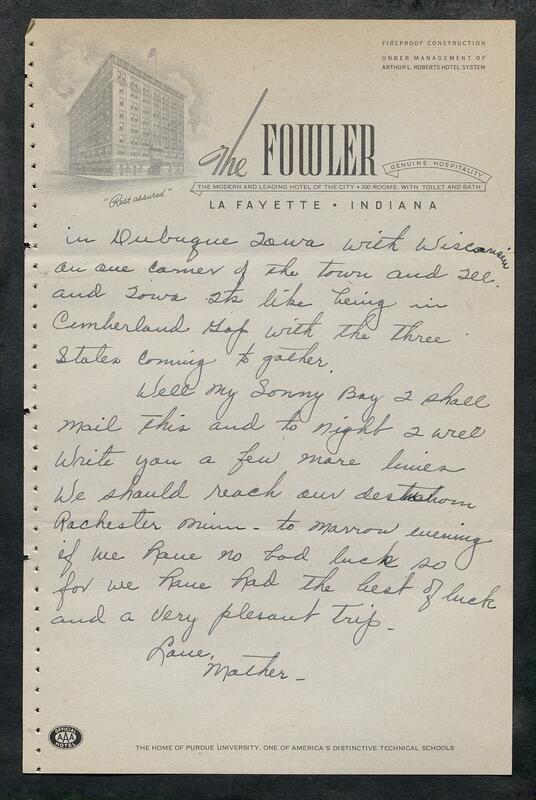 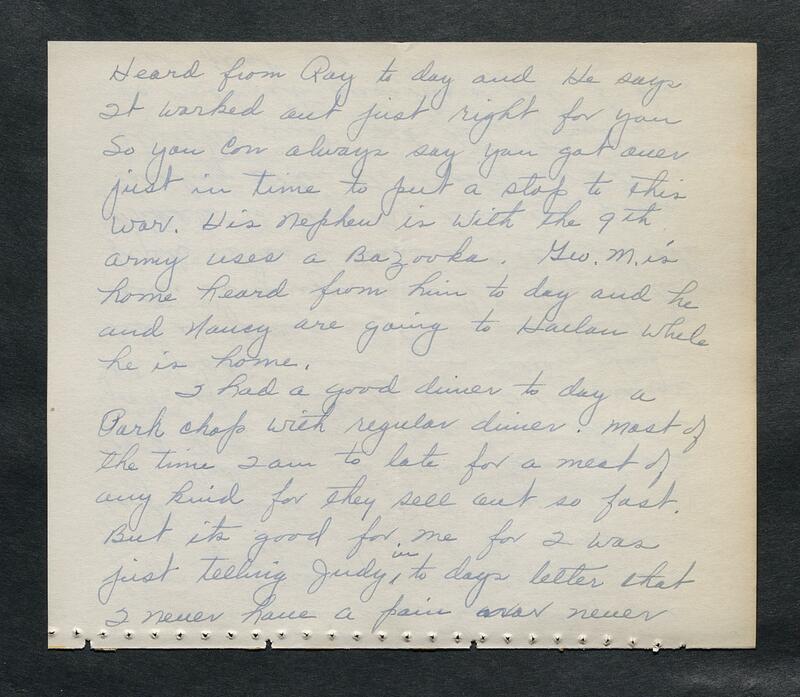 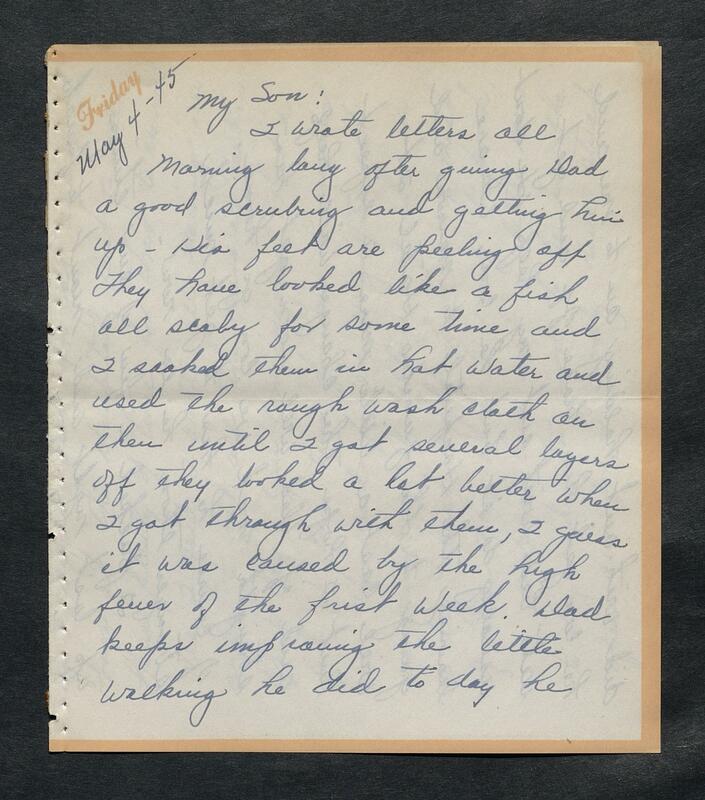 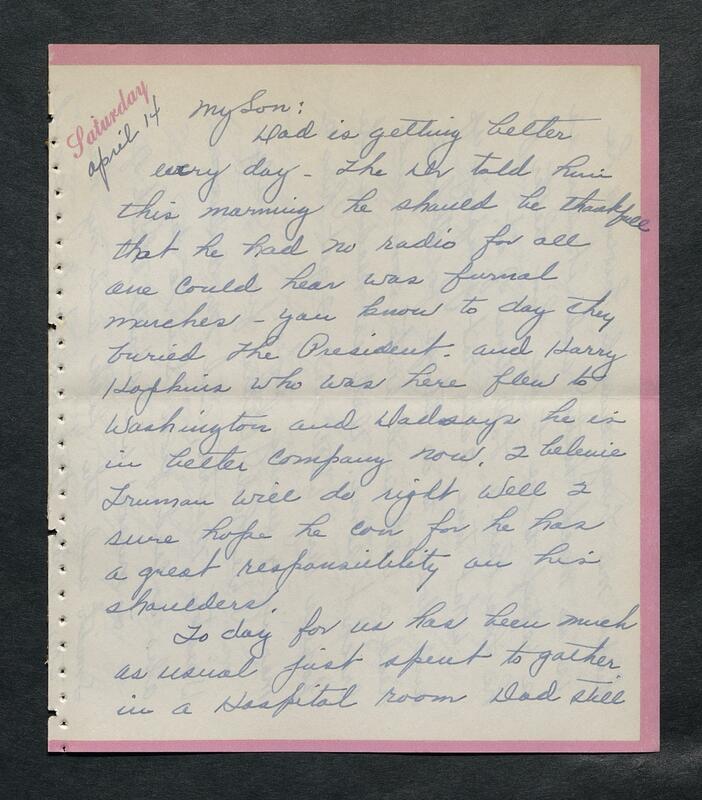 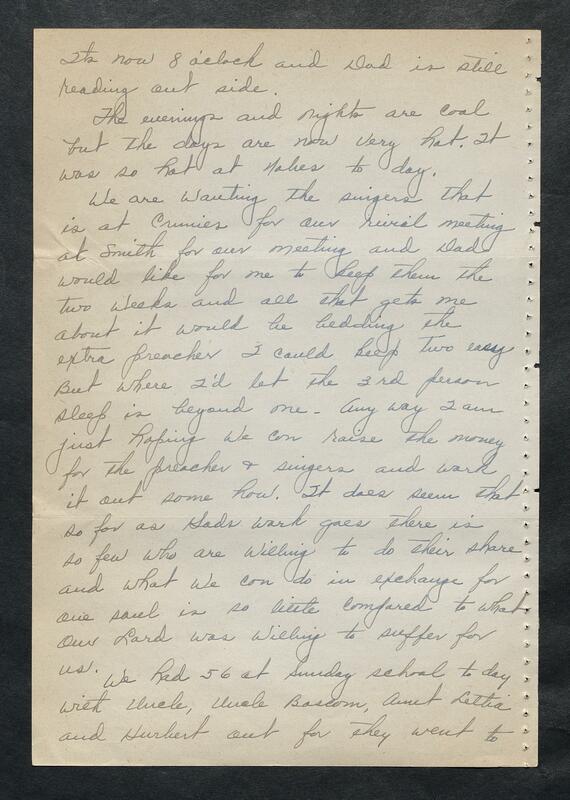 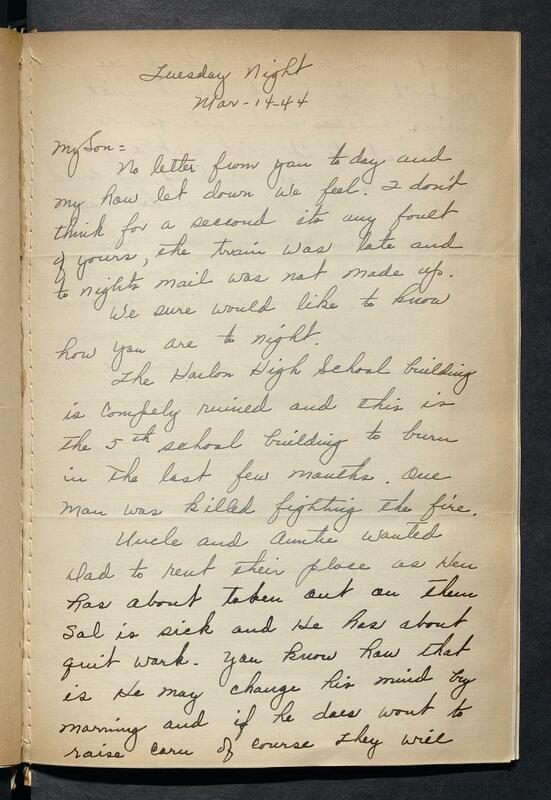 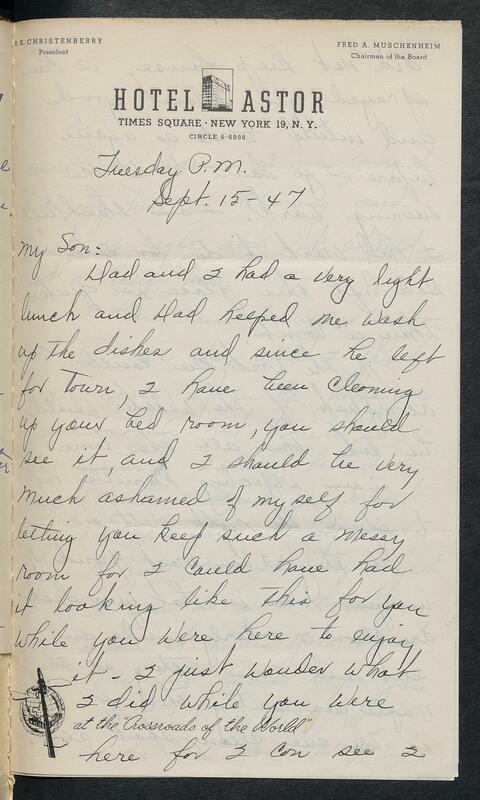 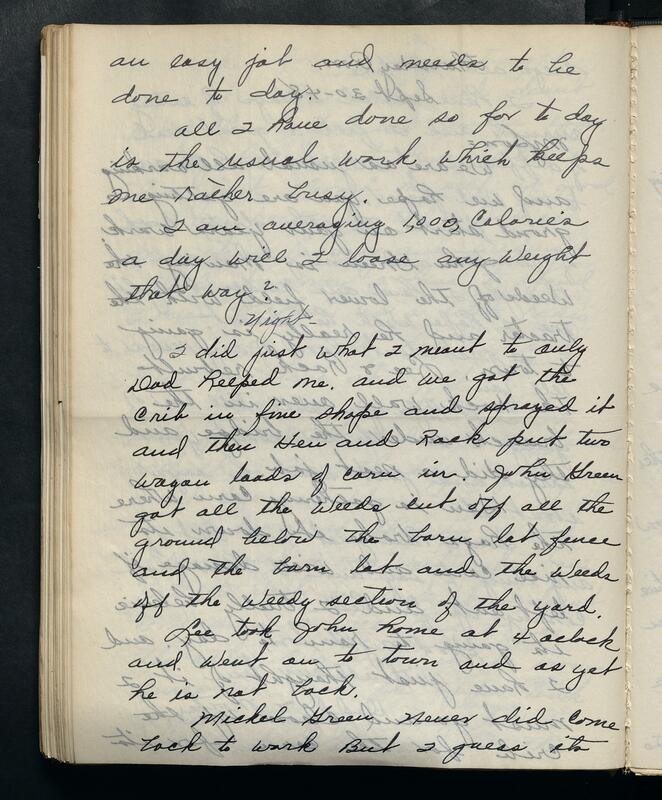 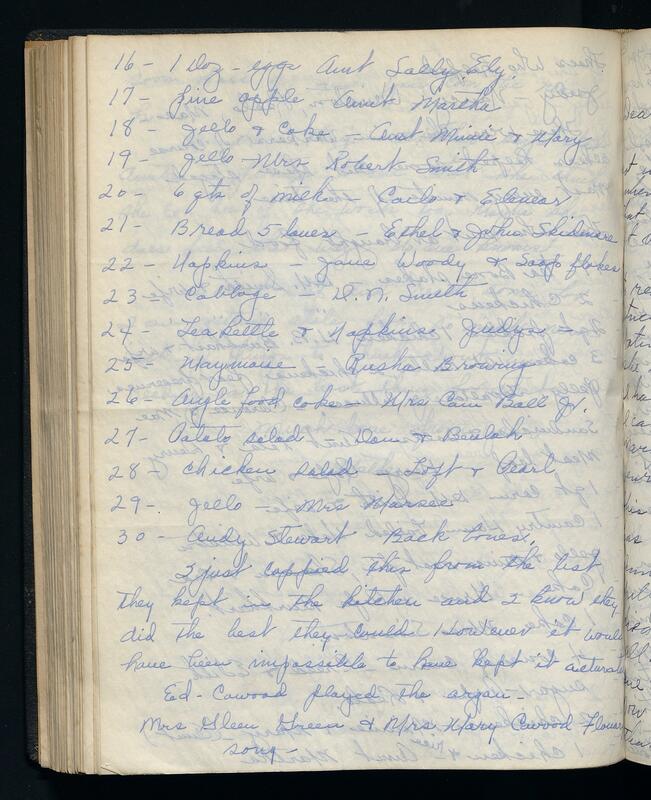 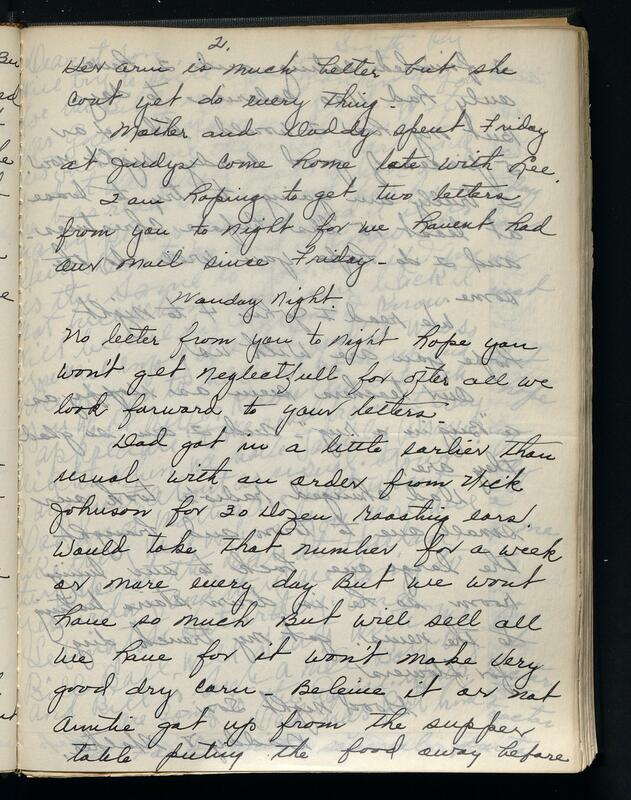 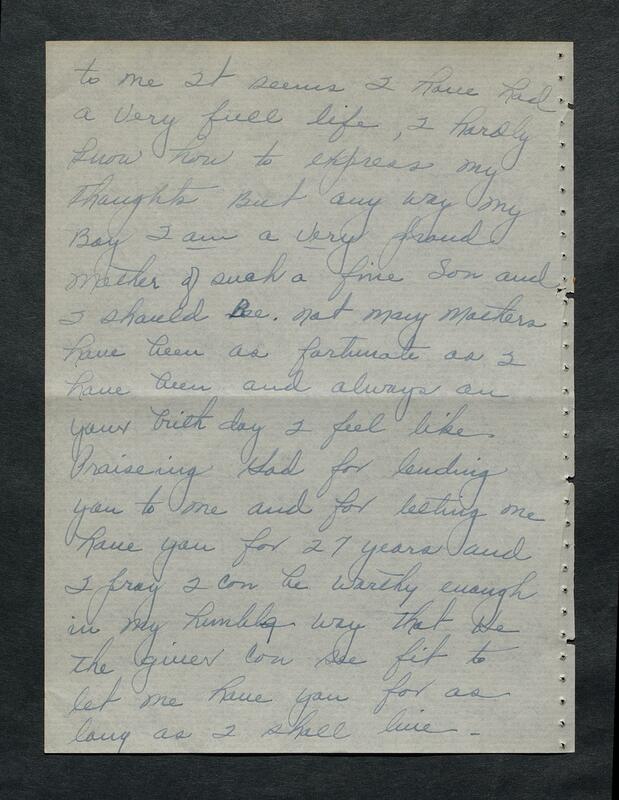 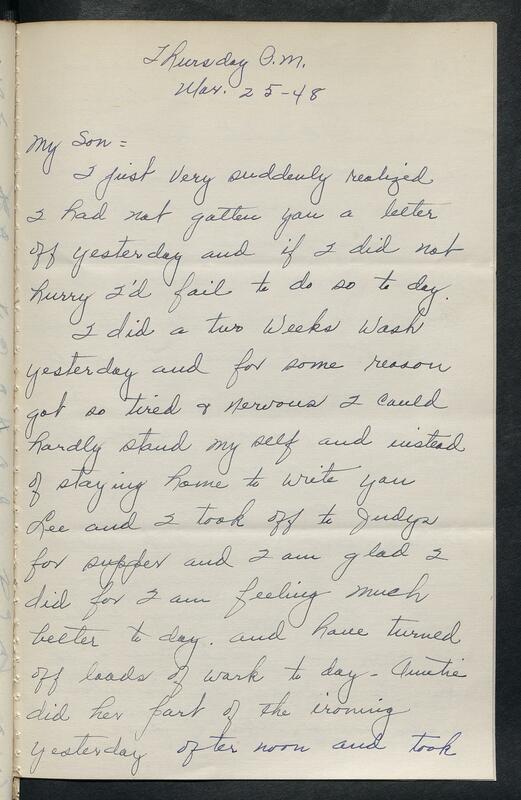 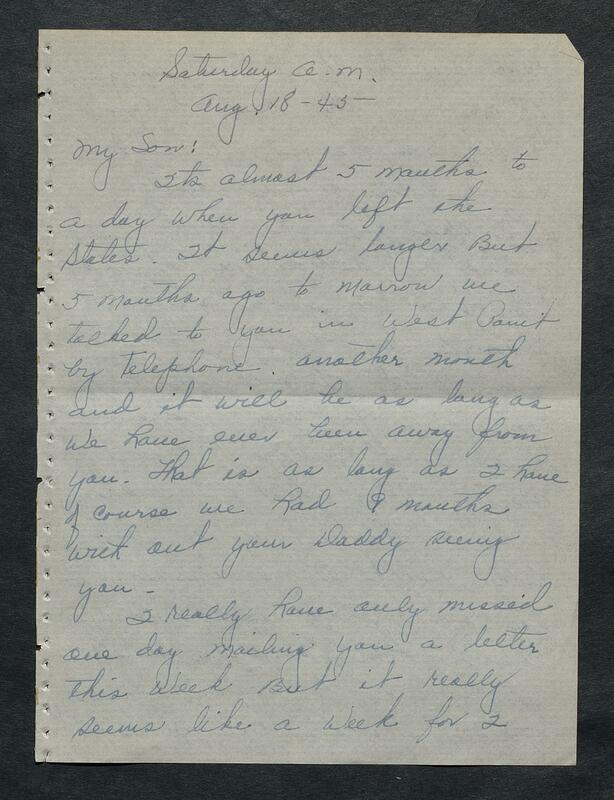 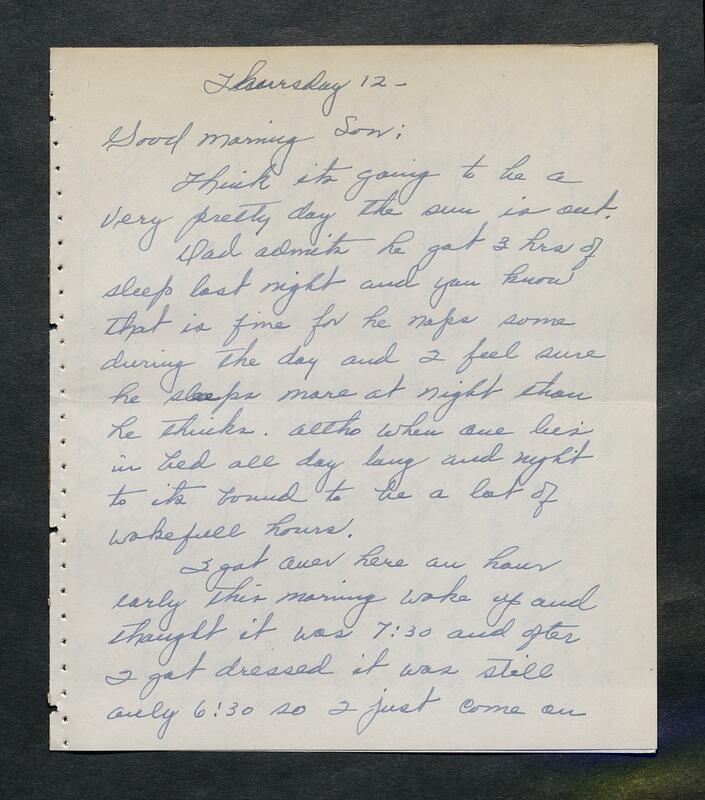 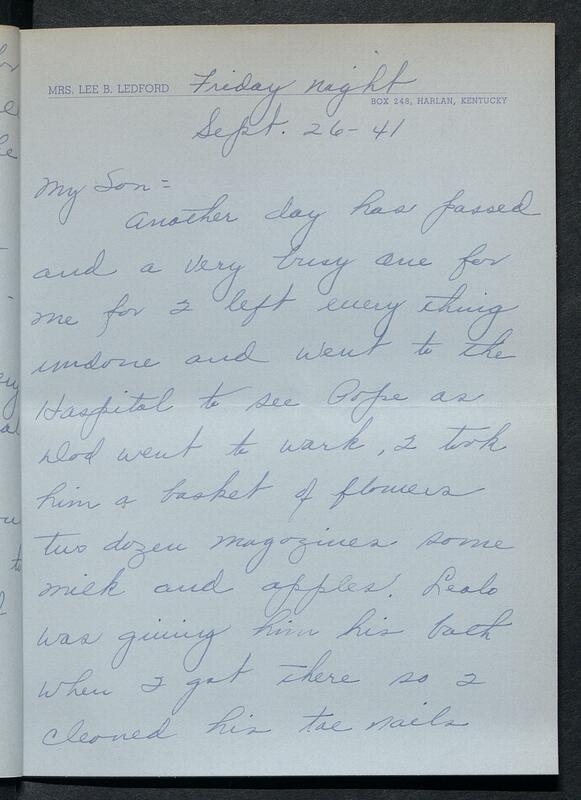 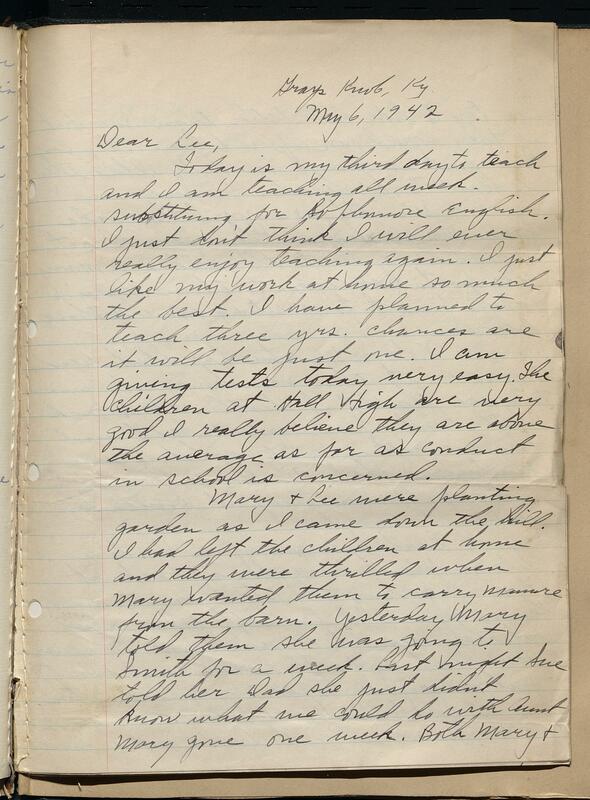 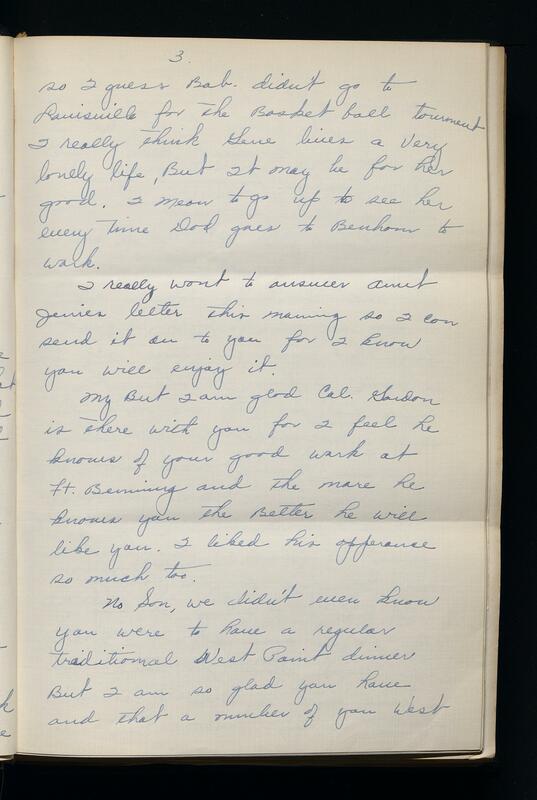 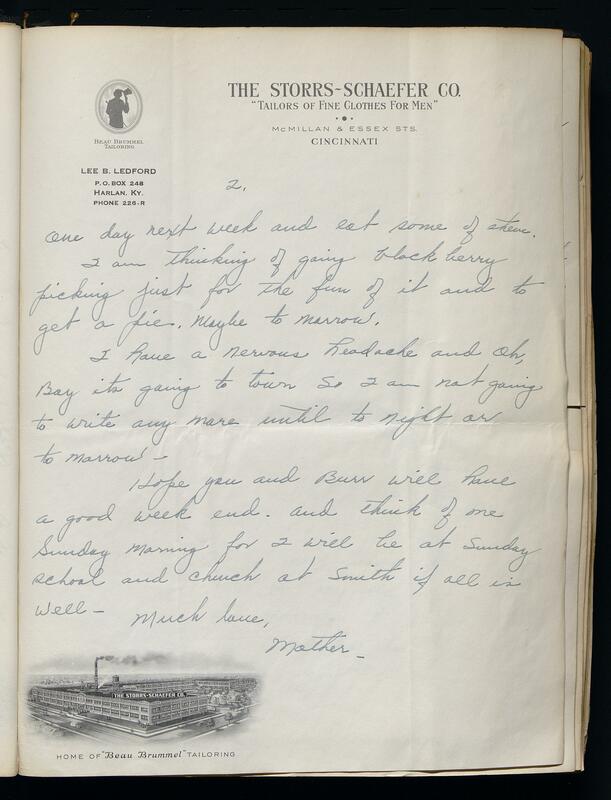 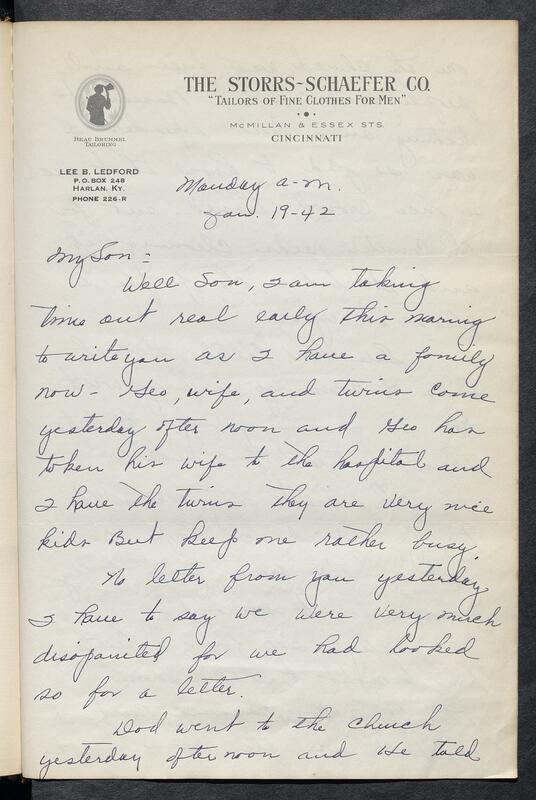 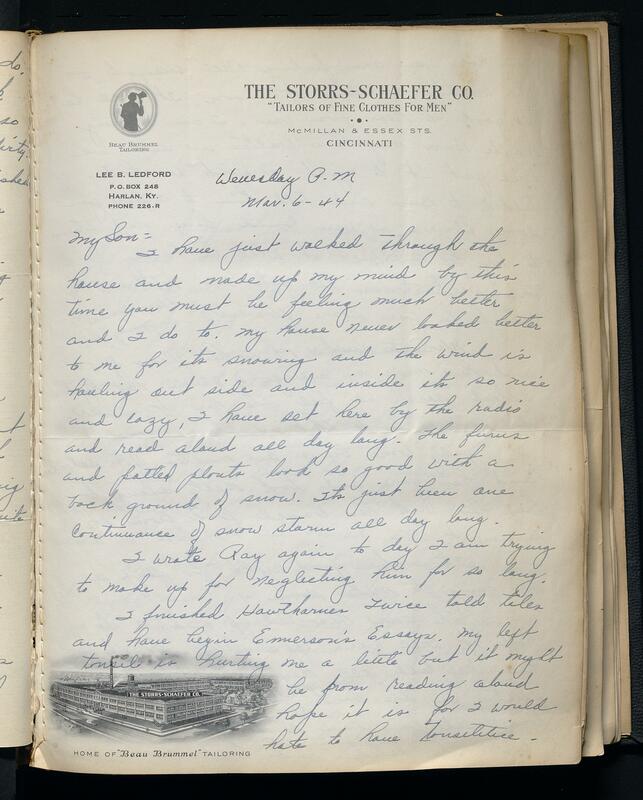 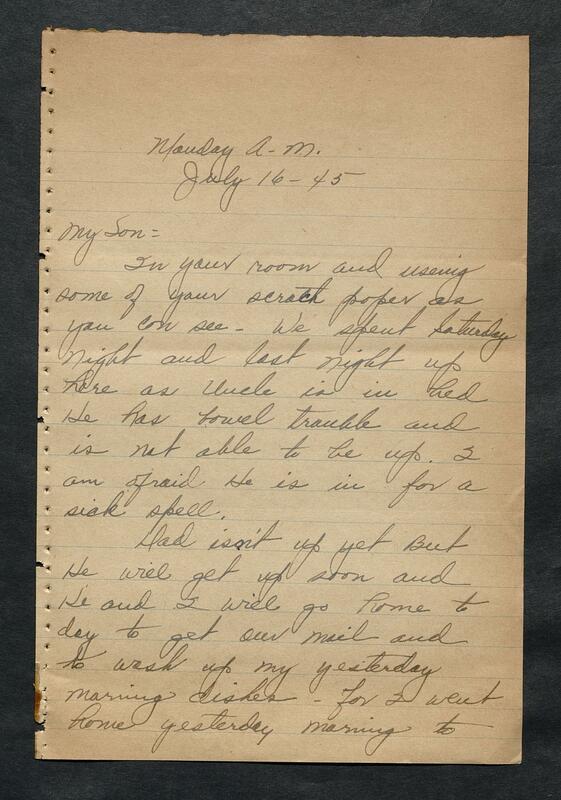 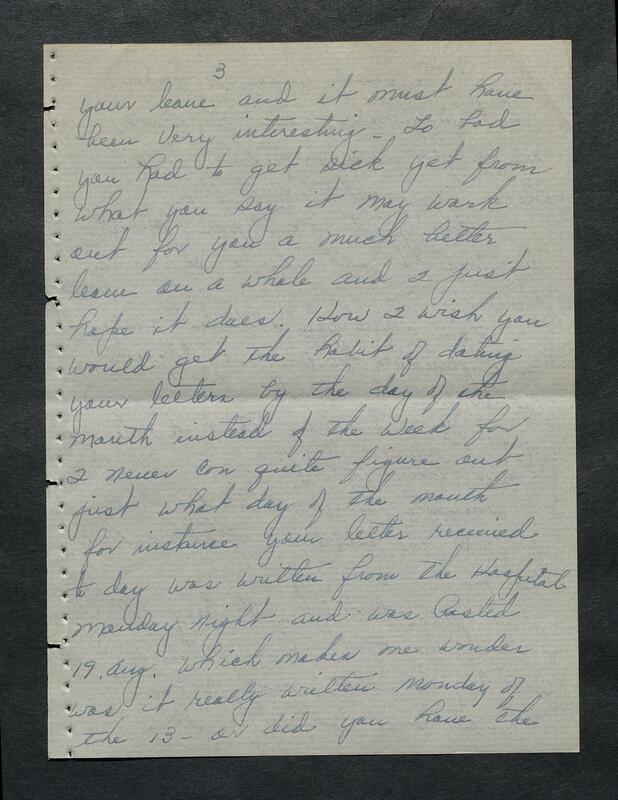 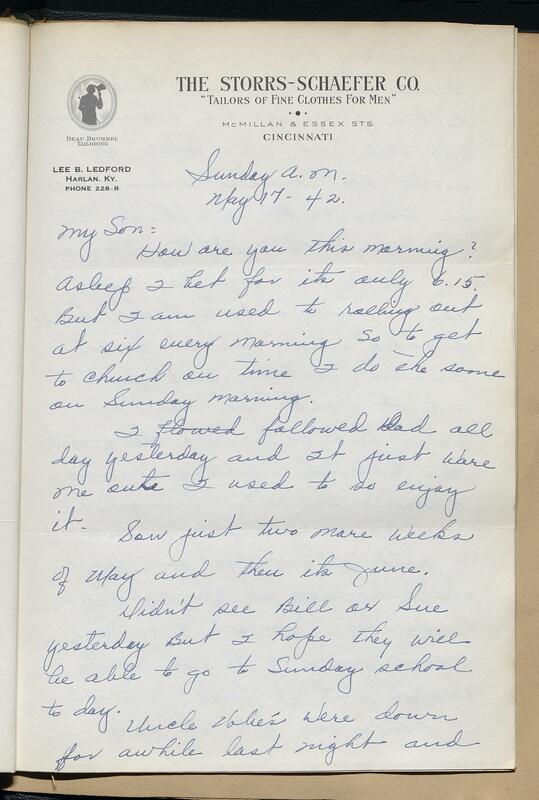 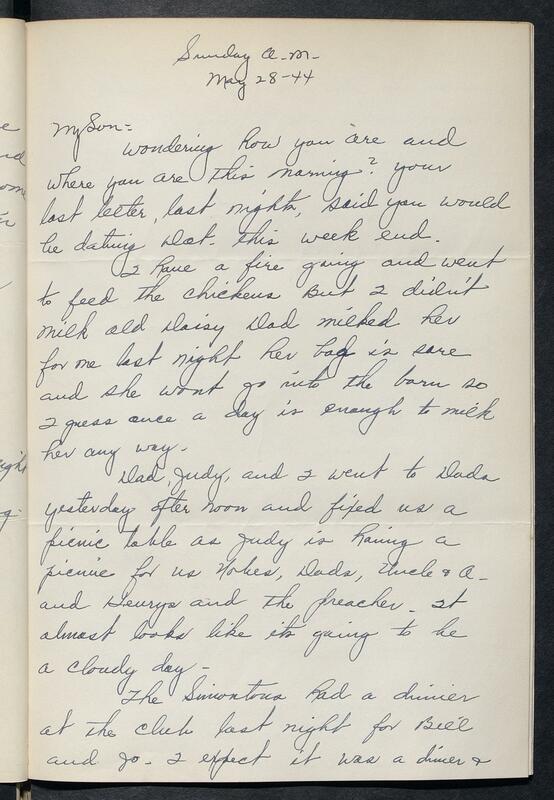 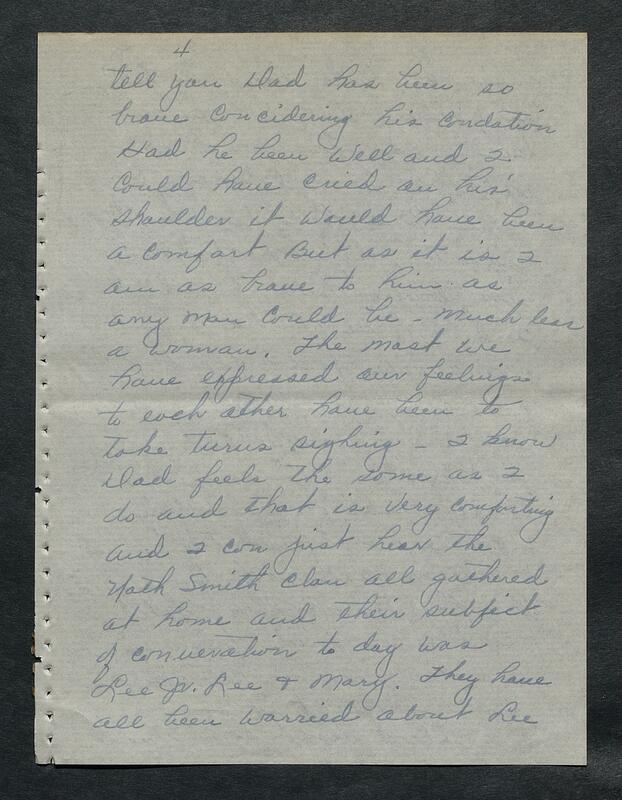 The Madge E. Smith collection of Mary Ledford letters (dated 1942-1973; 3.5 cubic feet; 10 boxes) consists of 18 bound volumes of letters from Mary Ledford to her son, Lee B. Ledford, Jr. discussing her daily life in Harlan County, Kentucky. 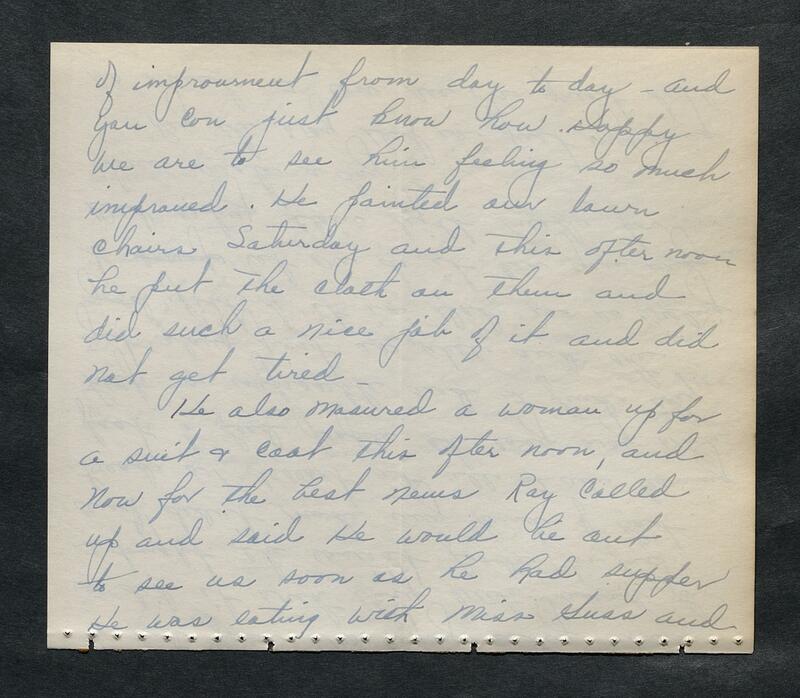 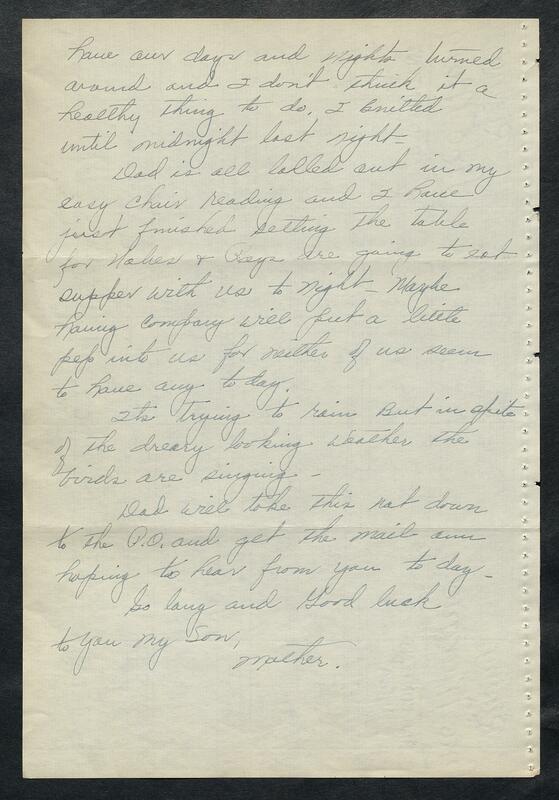 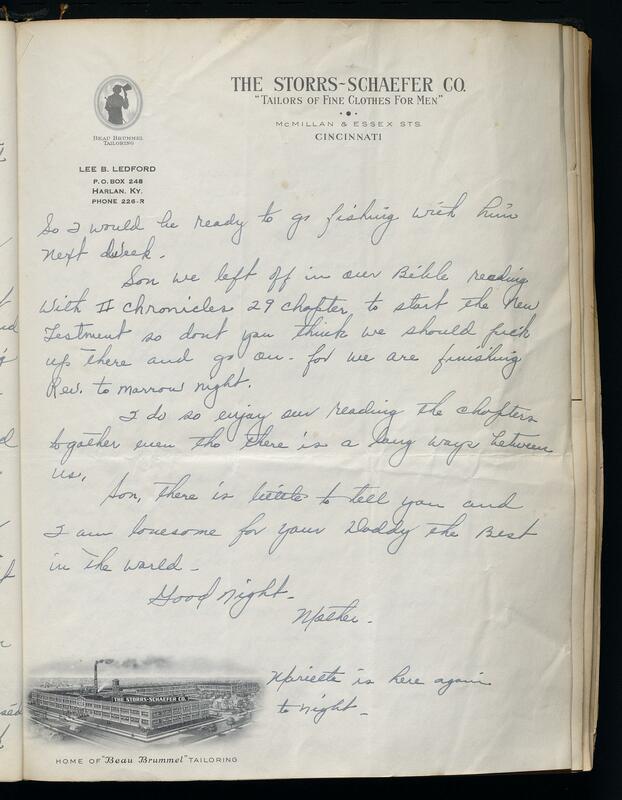 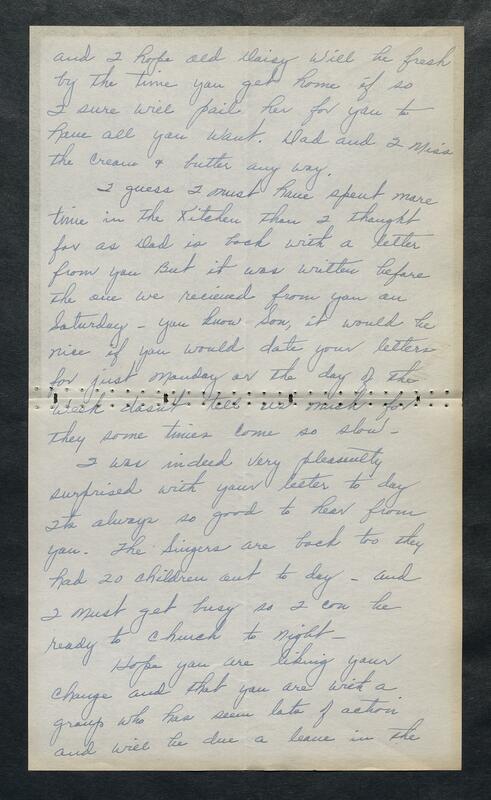 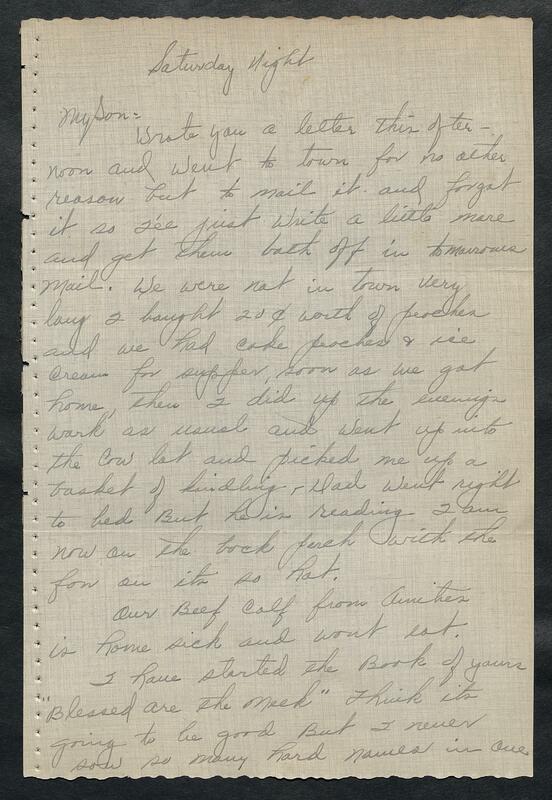 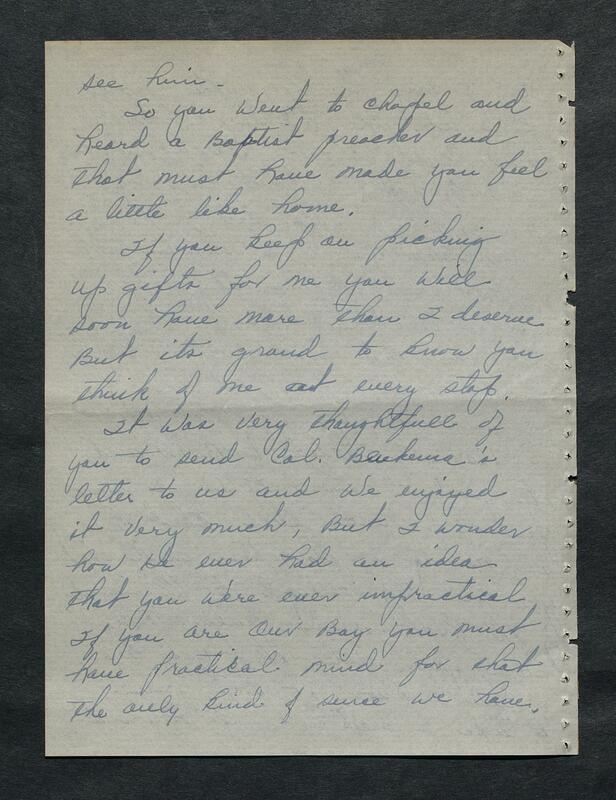 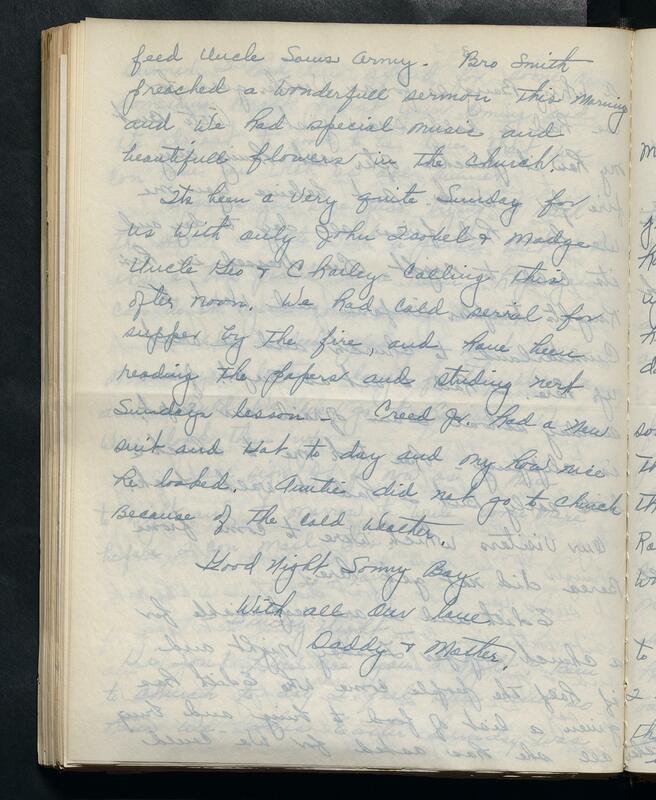 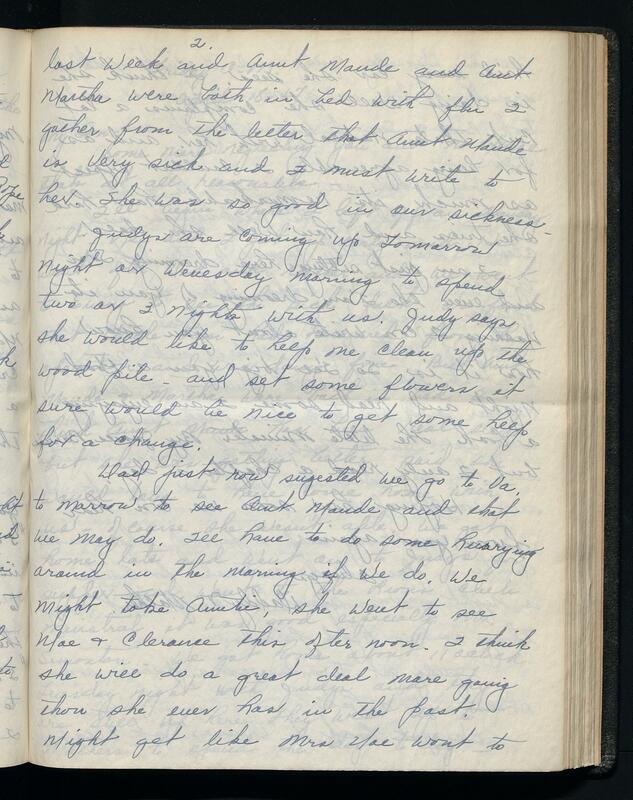 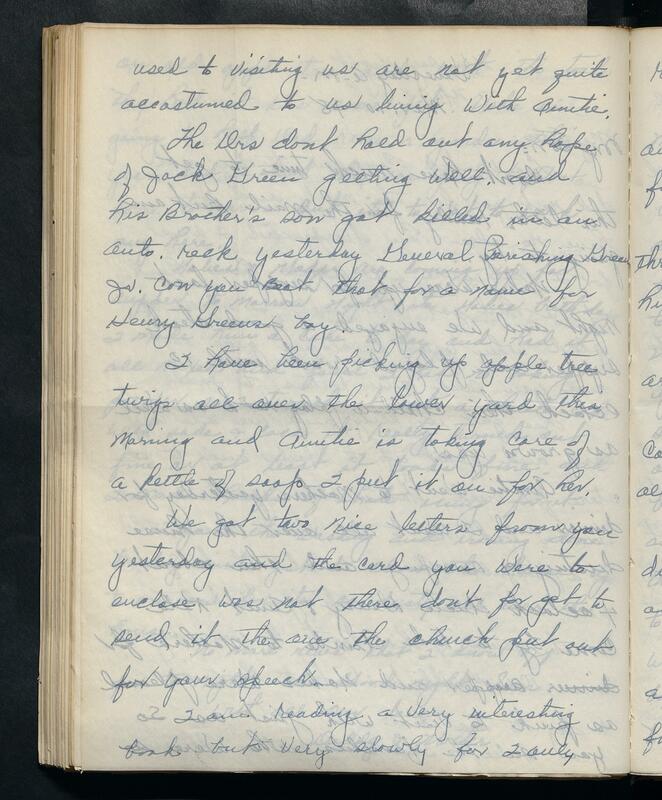 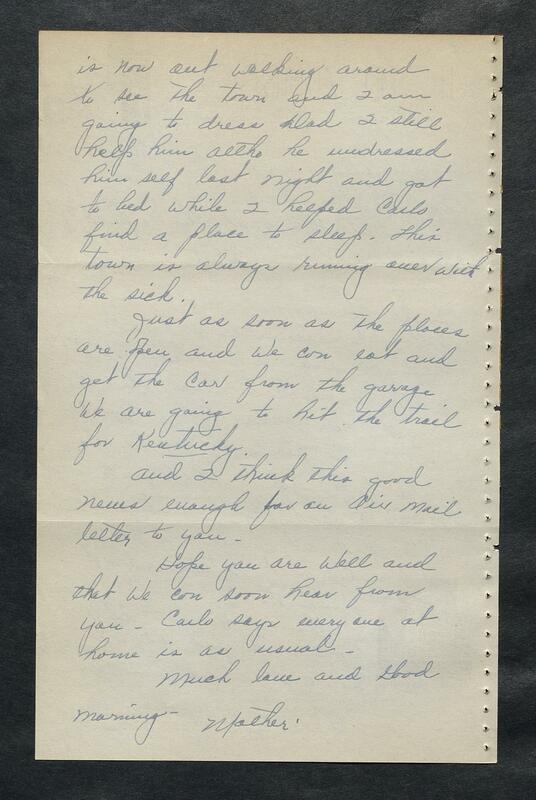 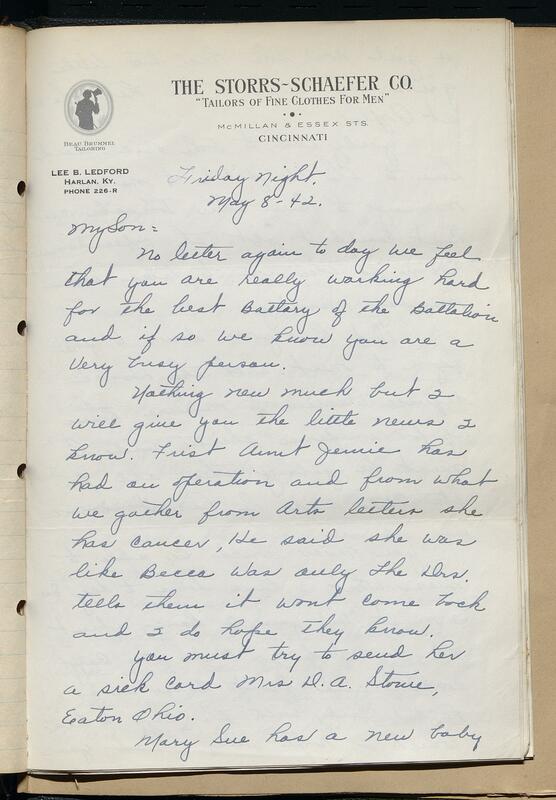 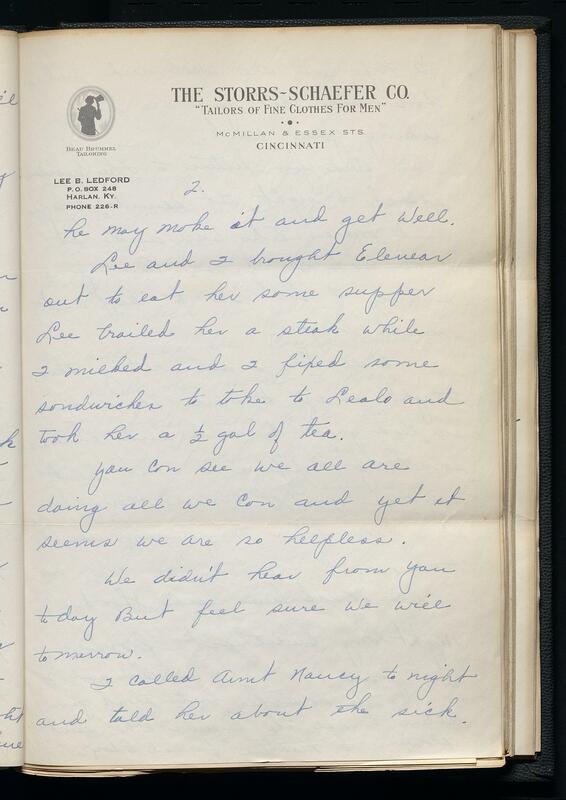 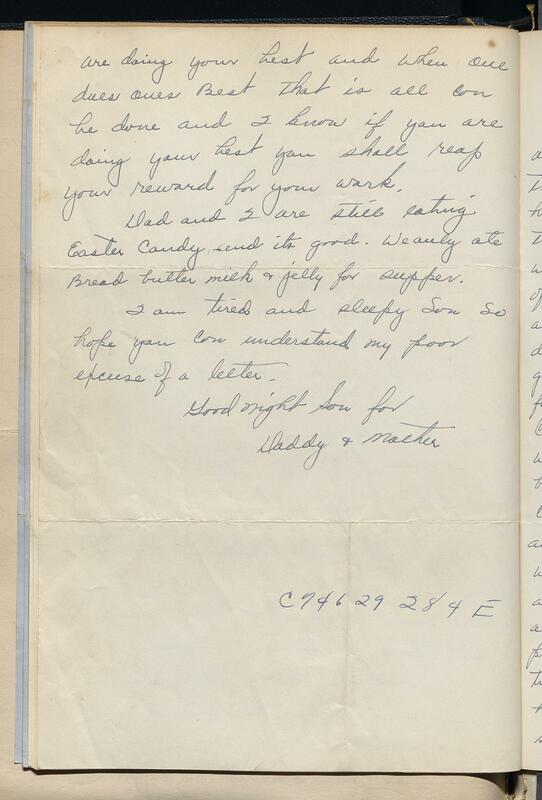 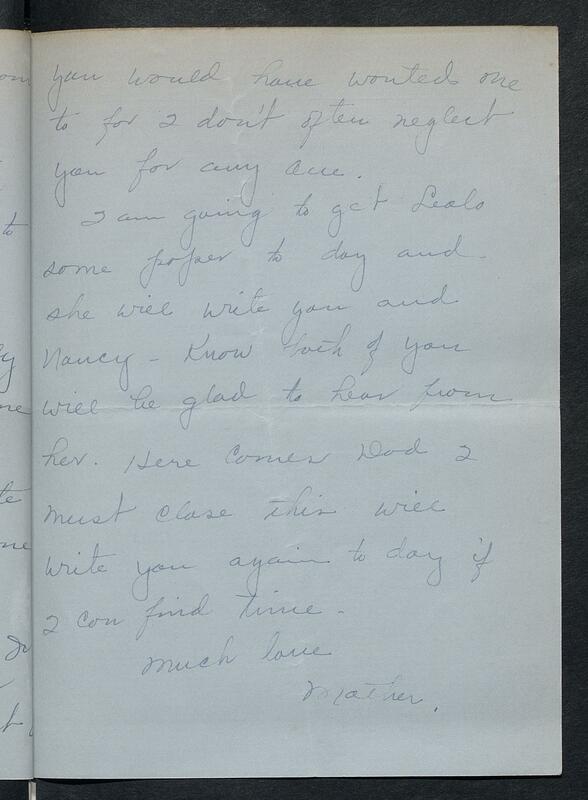 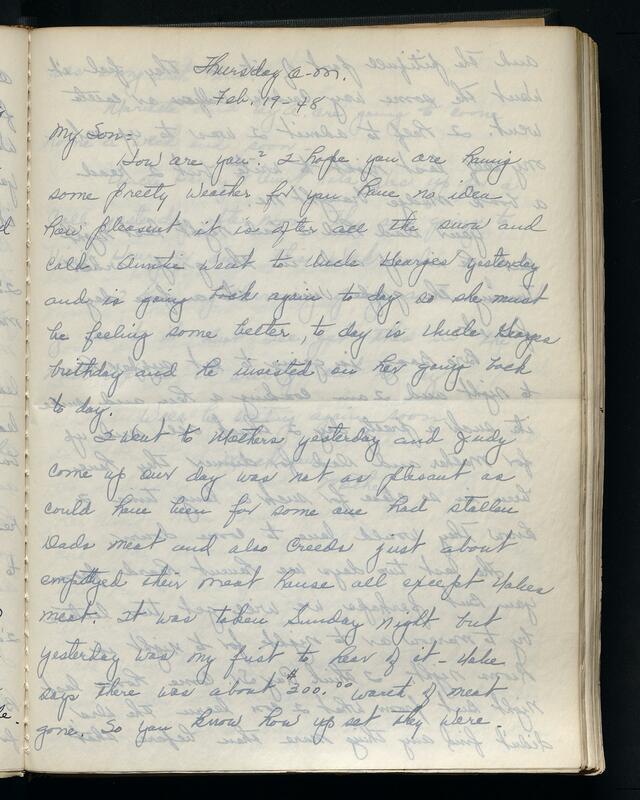 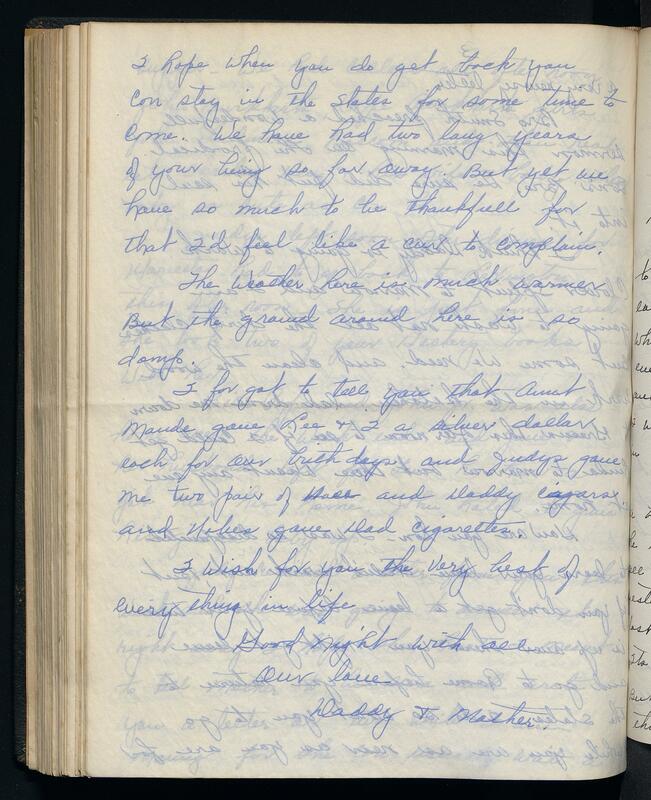 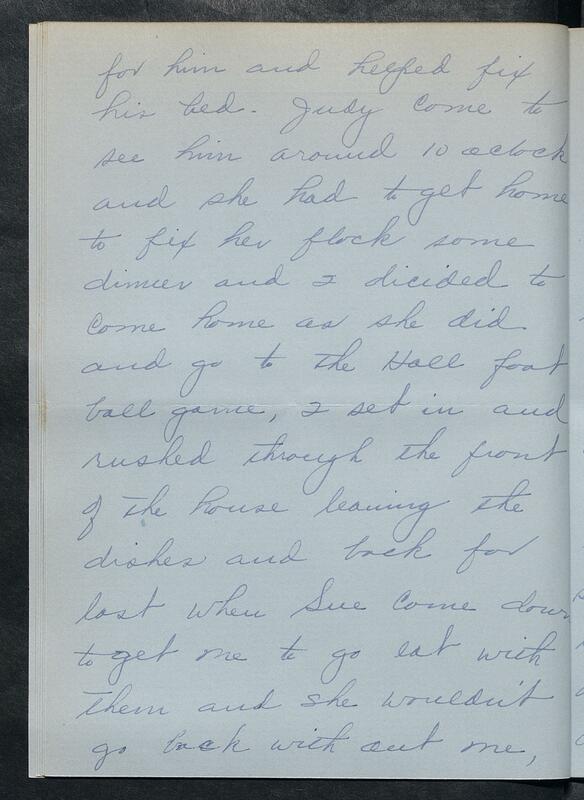 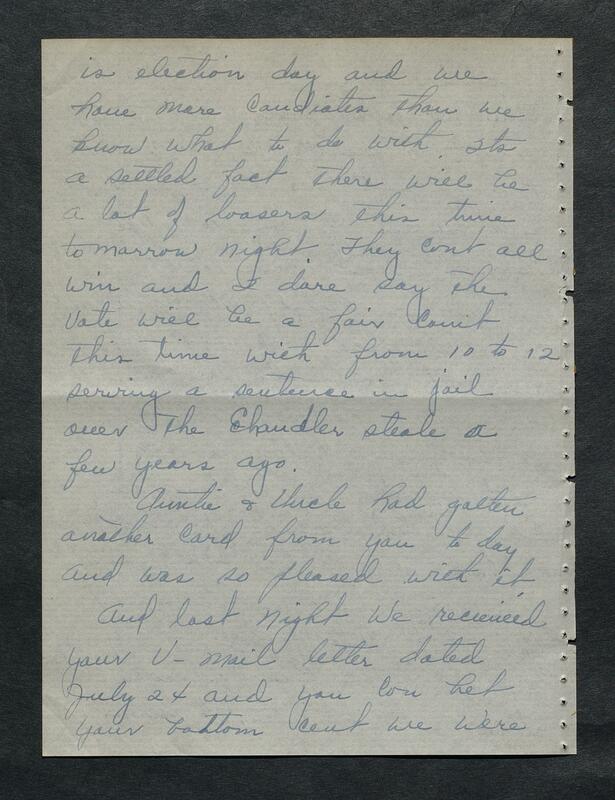 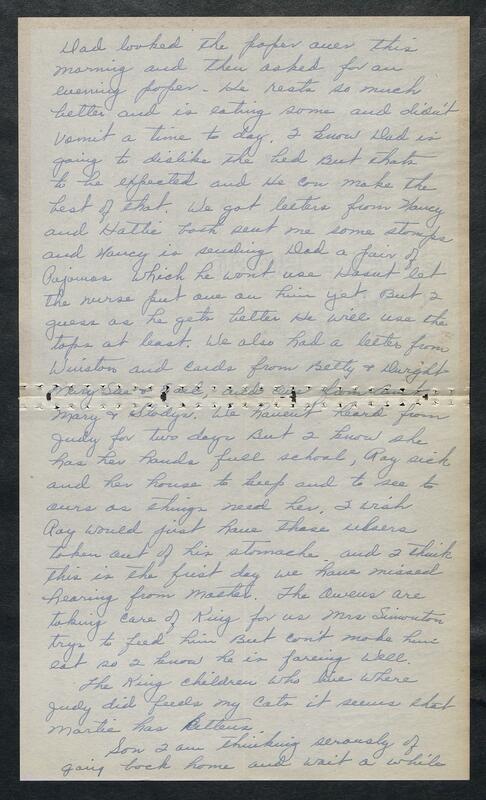 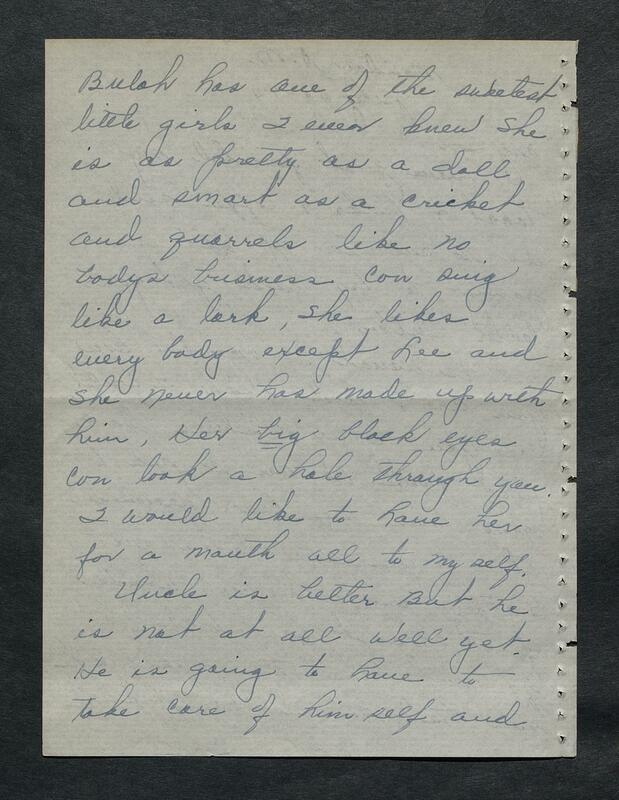 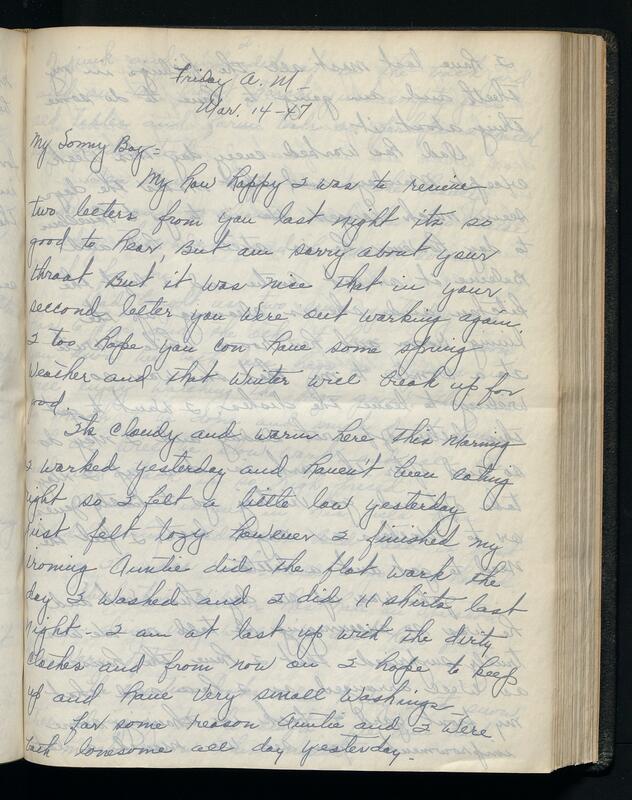 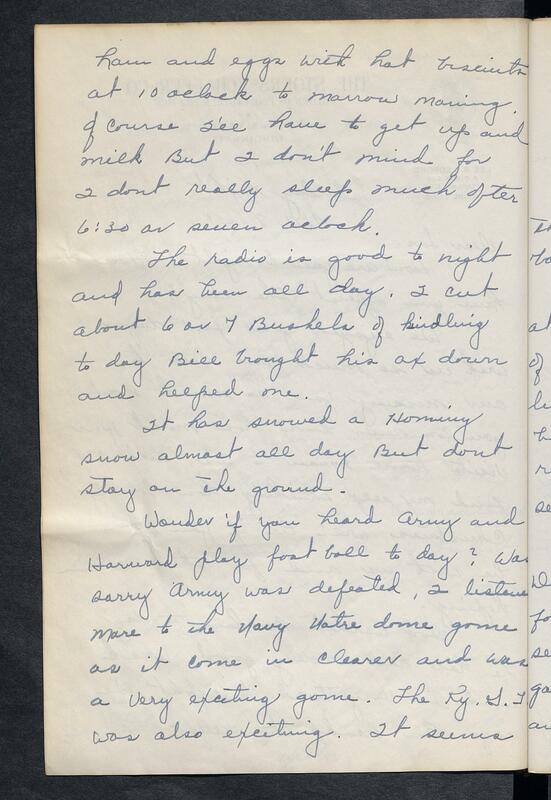 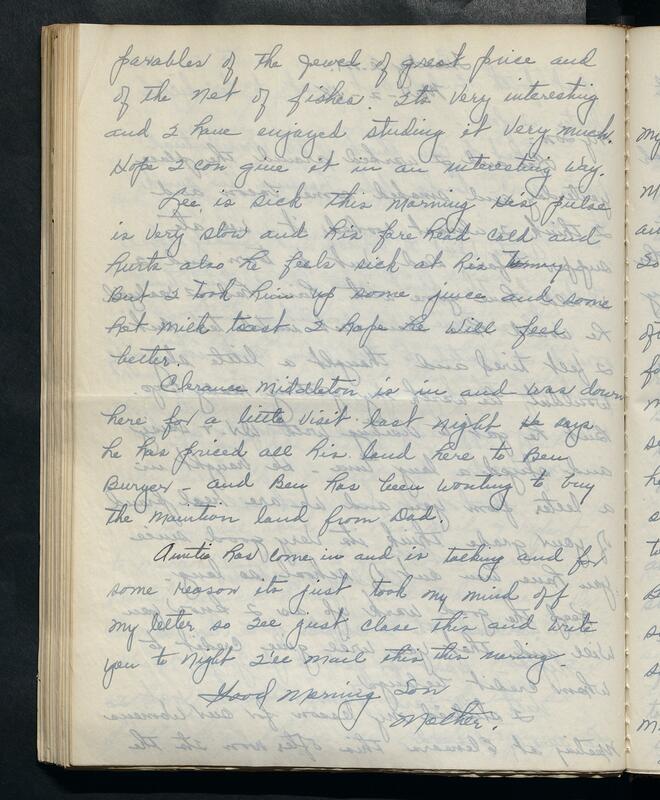 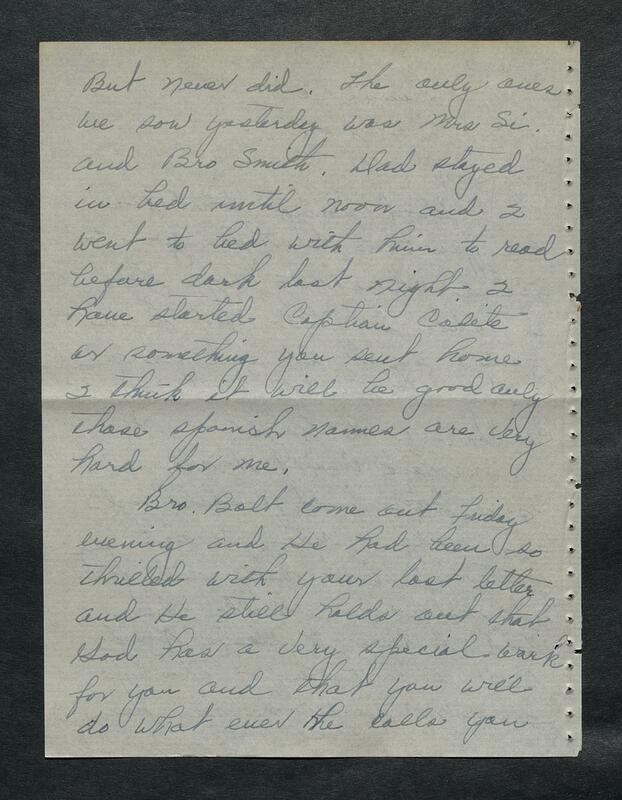 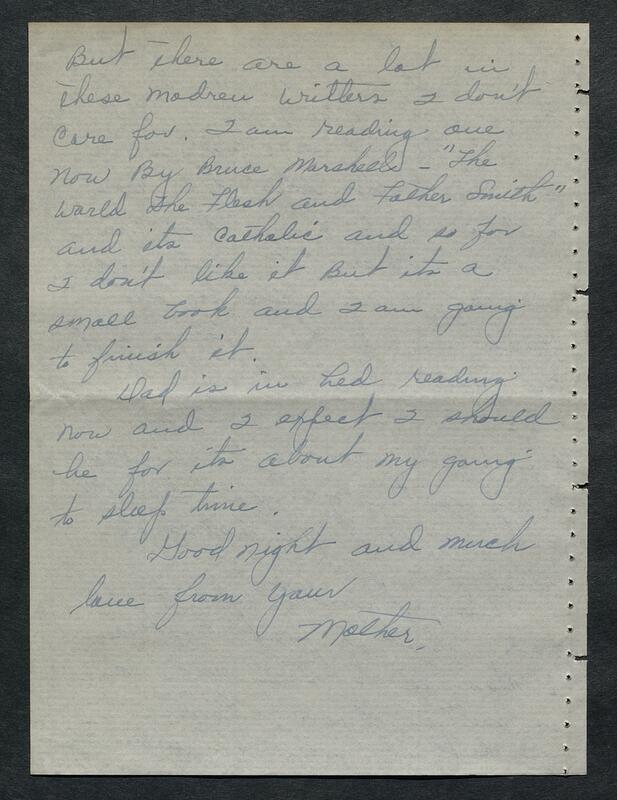 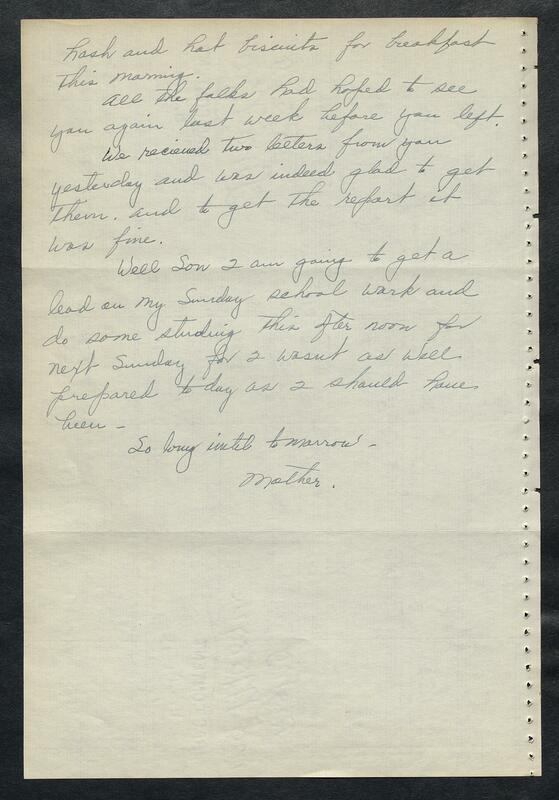 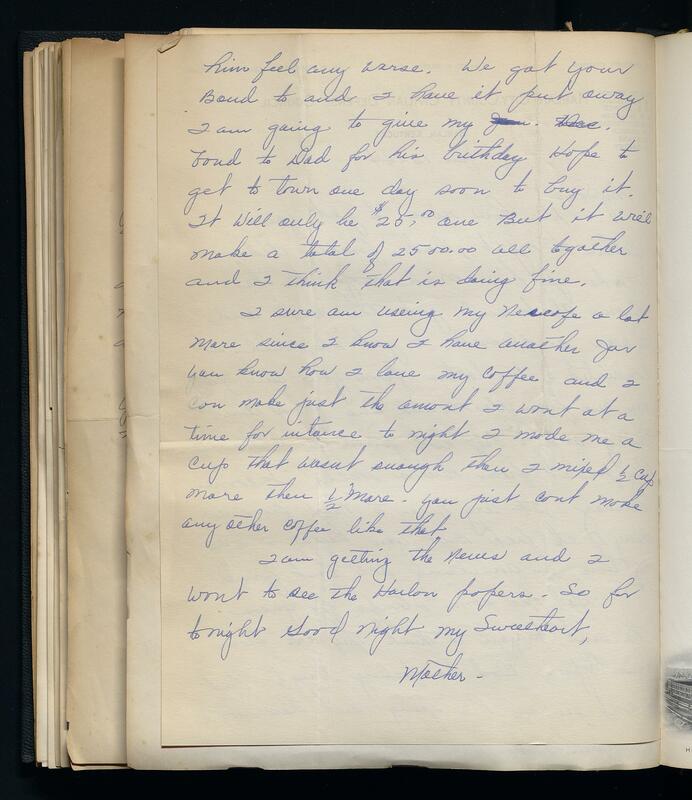 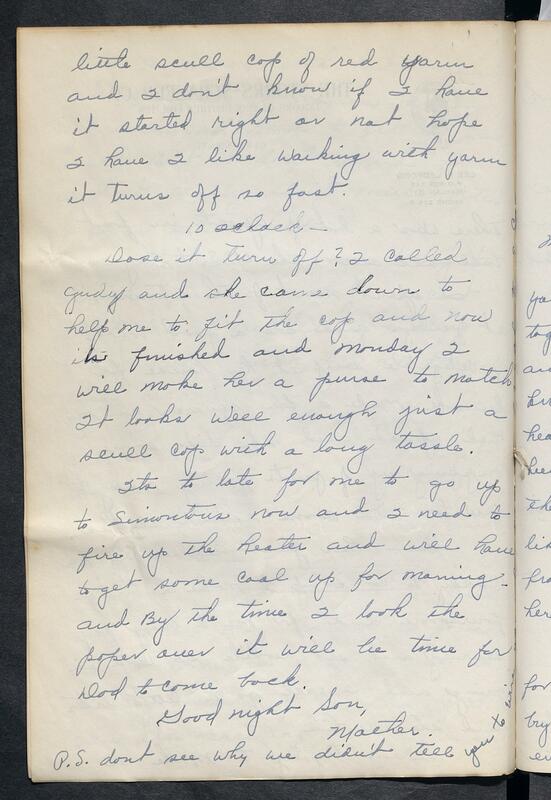 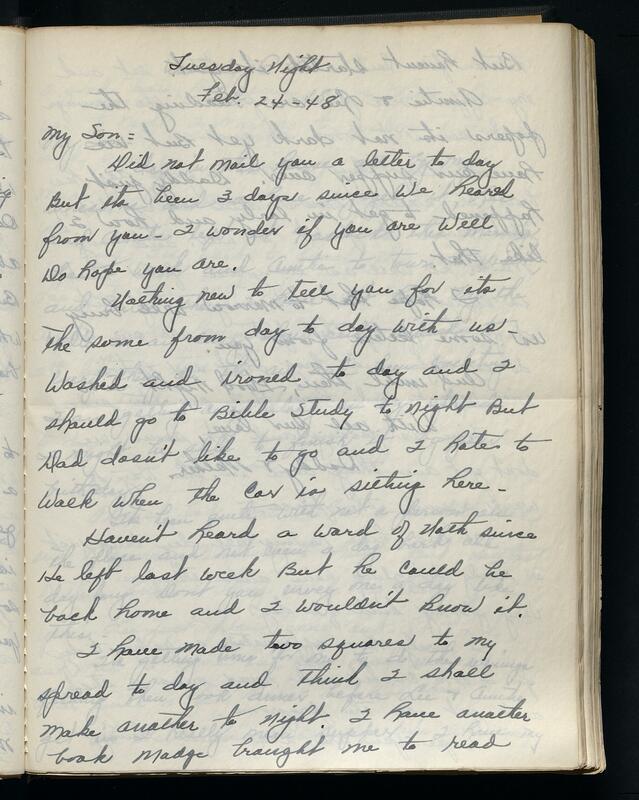 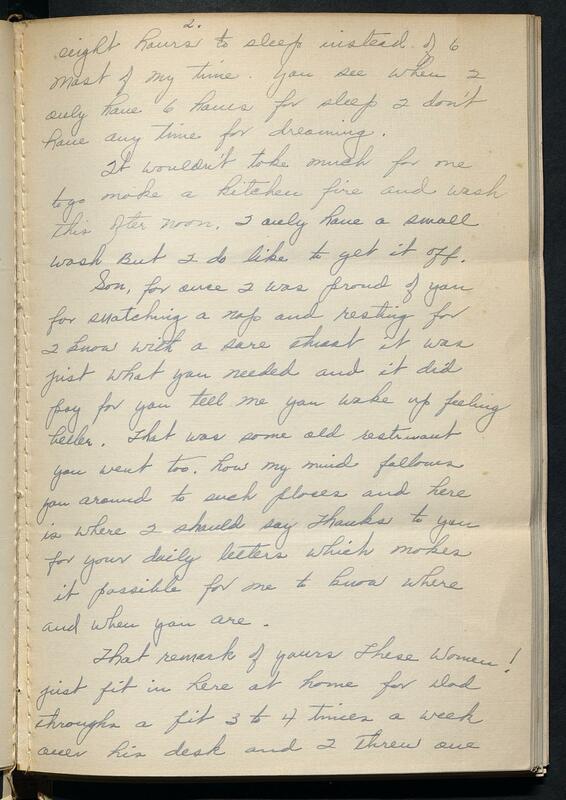 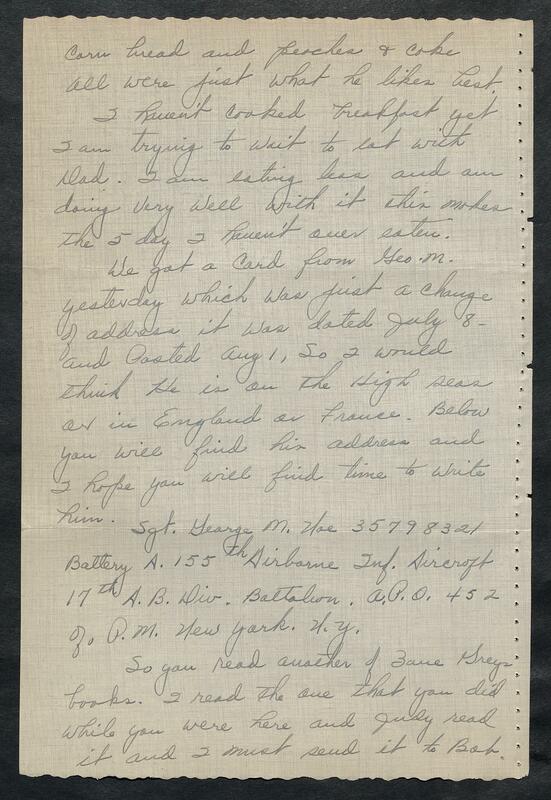 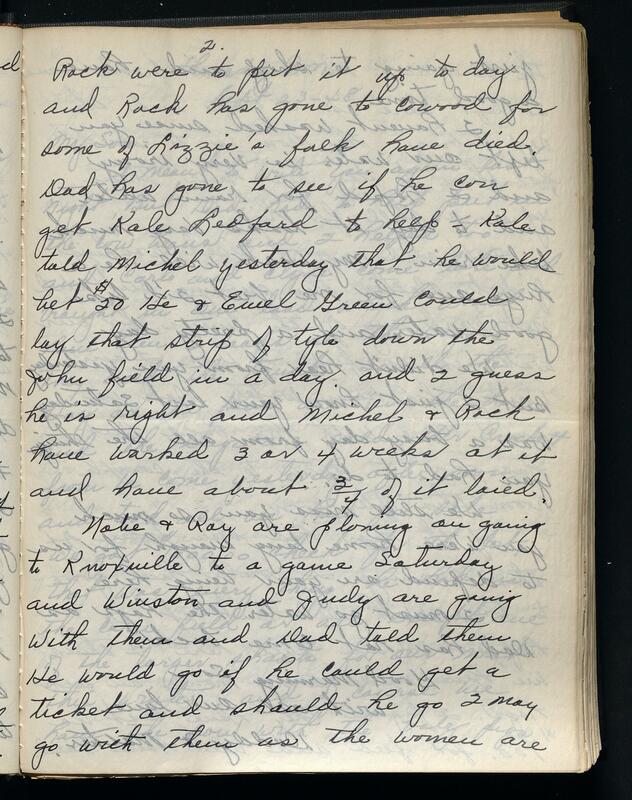 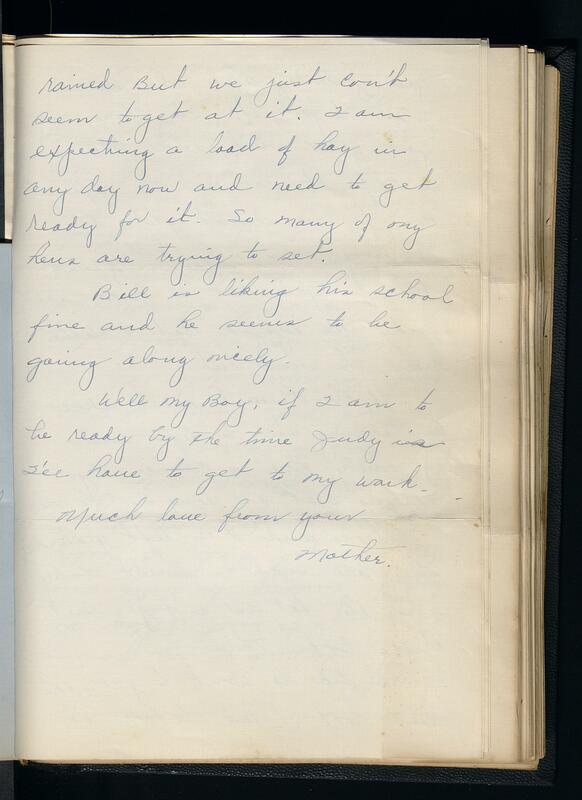 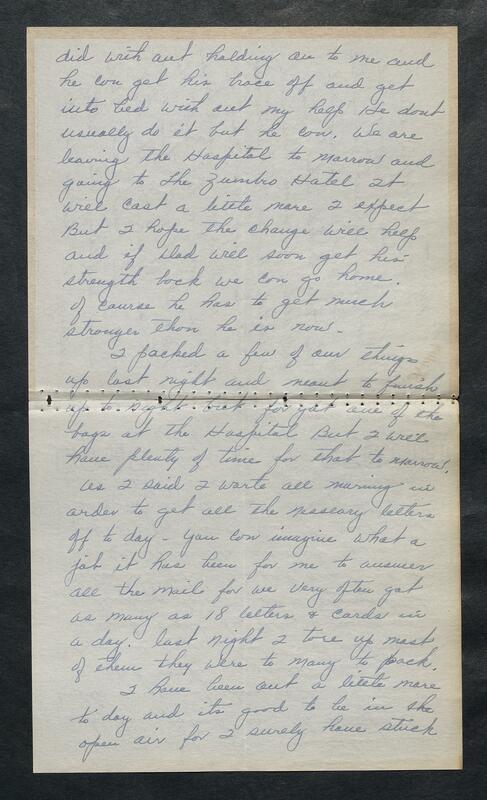 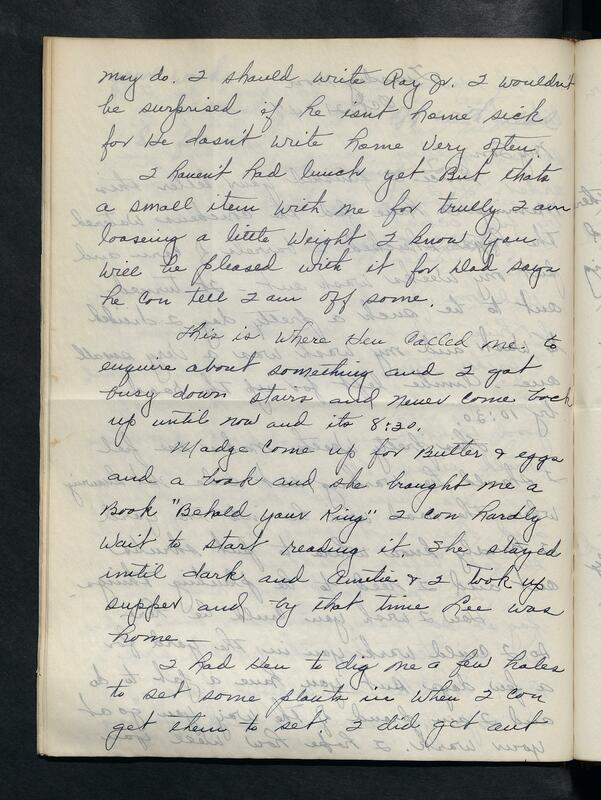 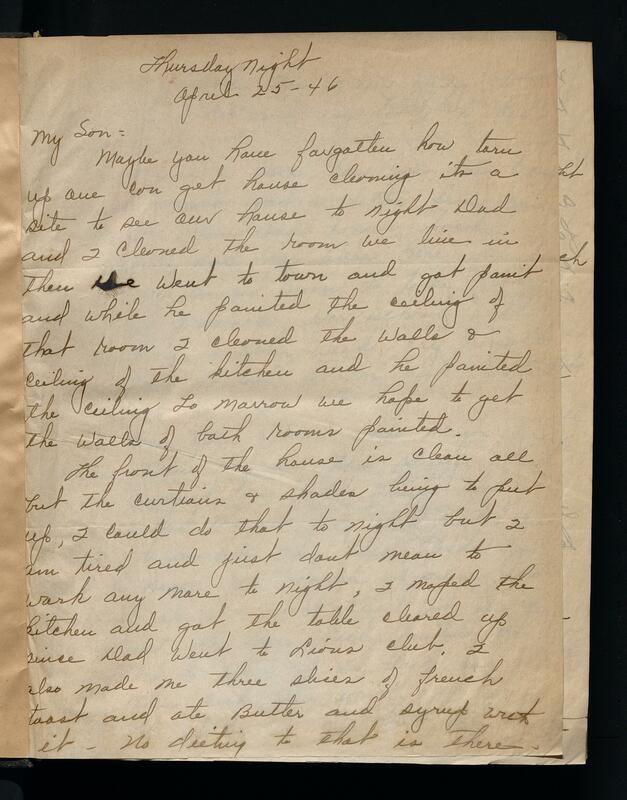 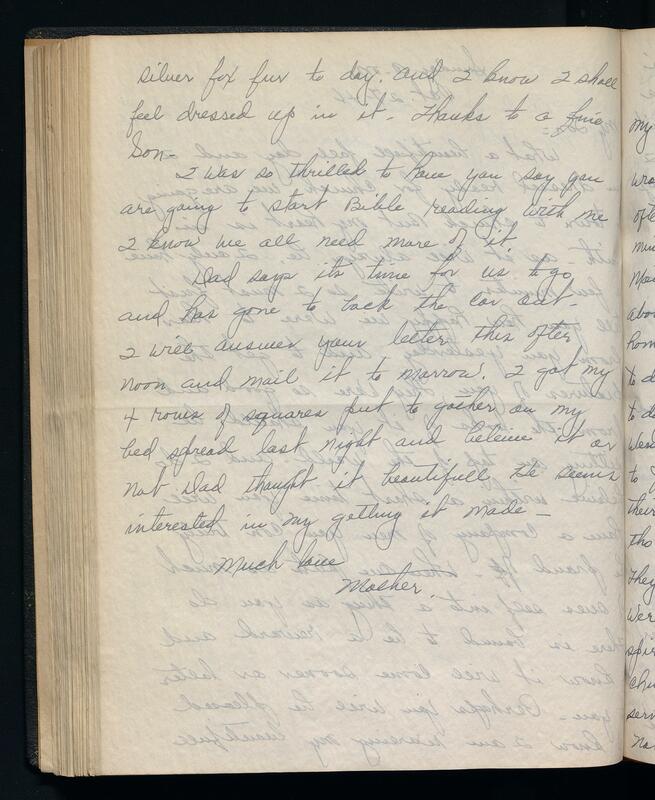 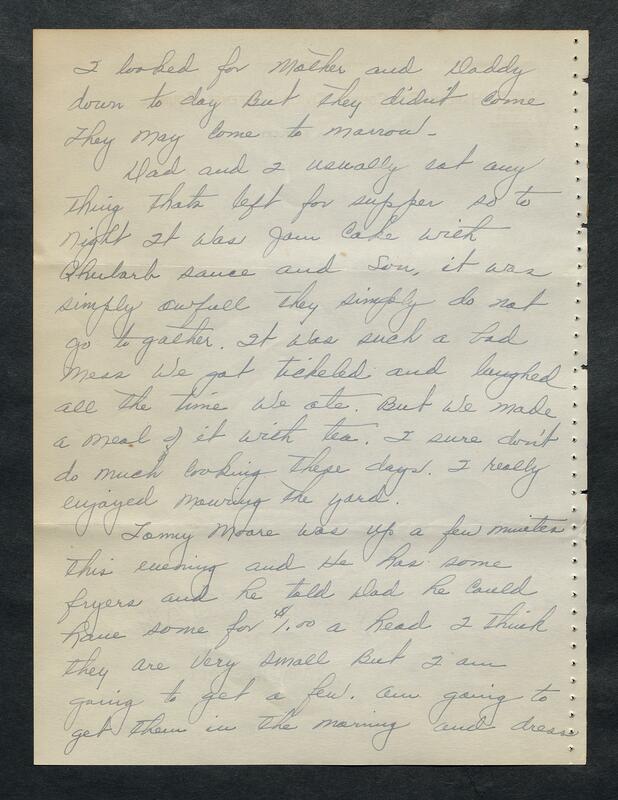 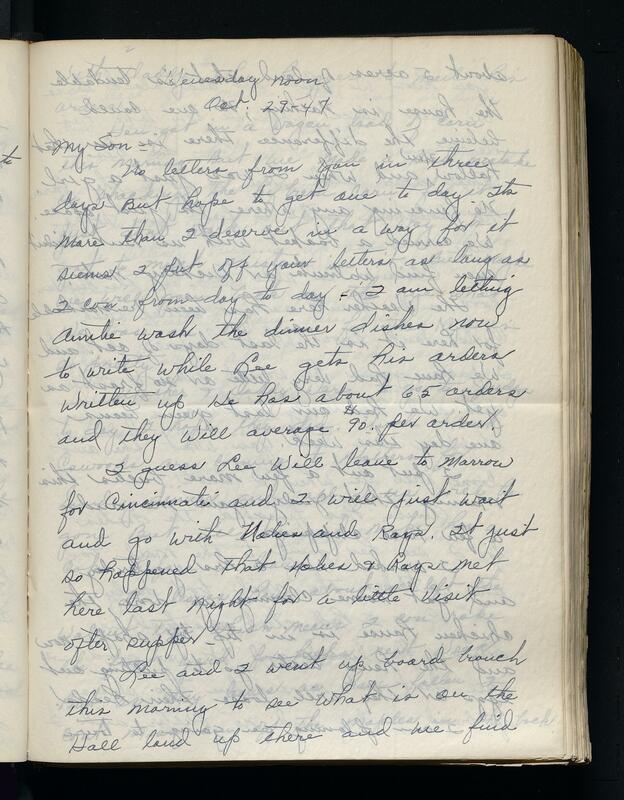 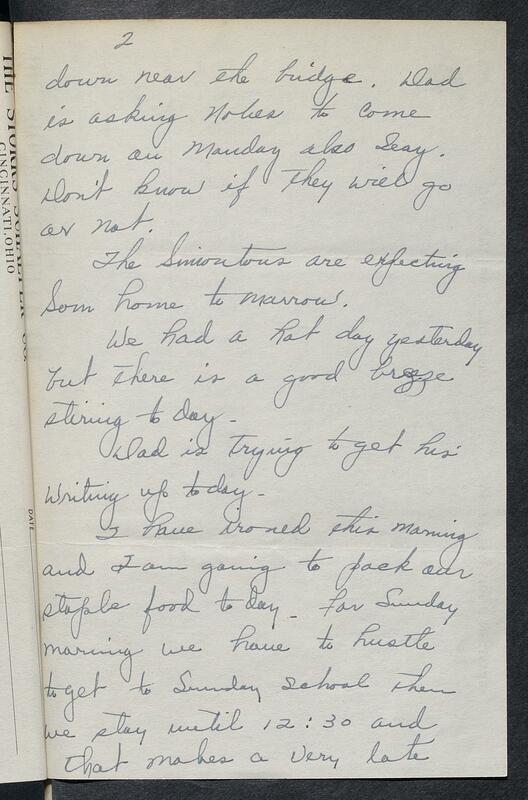 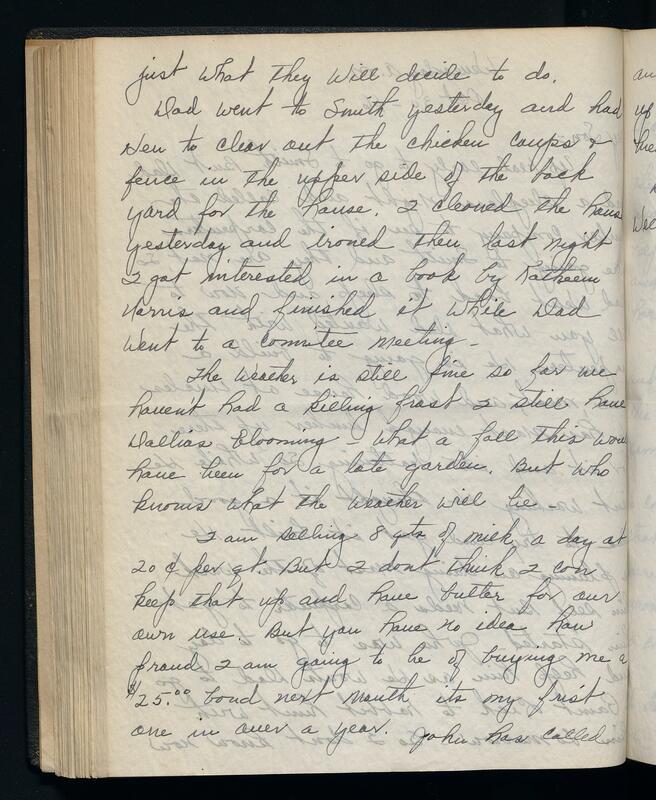 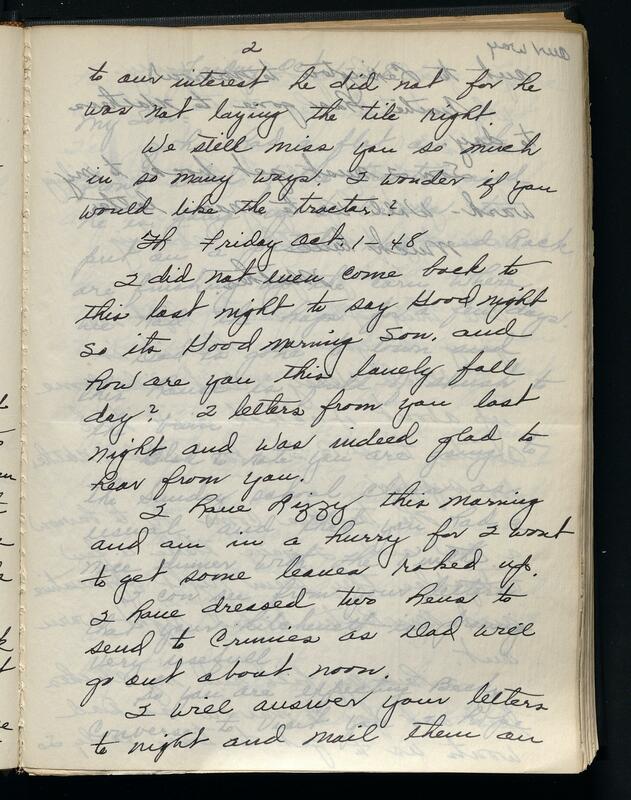 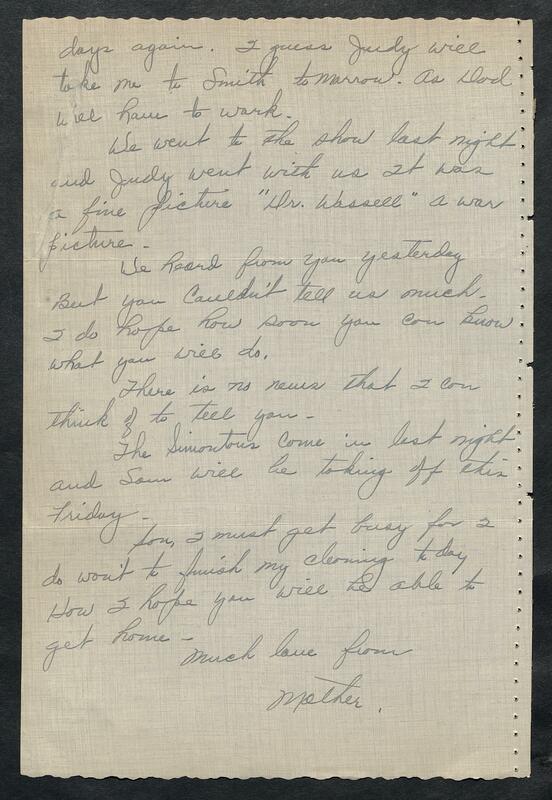 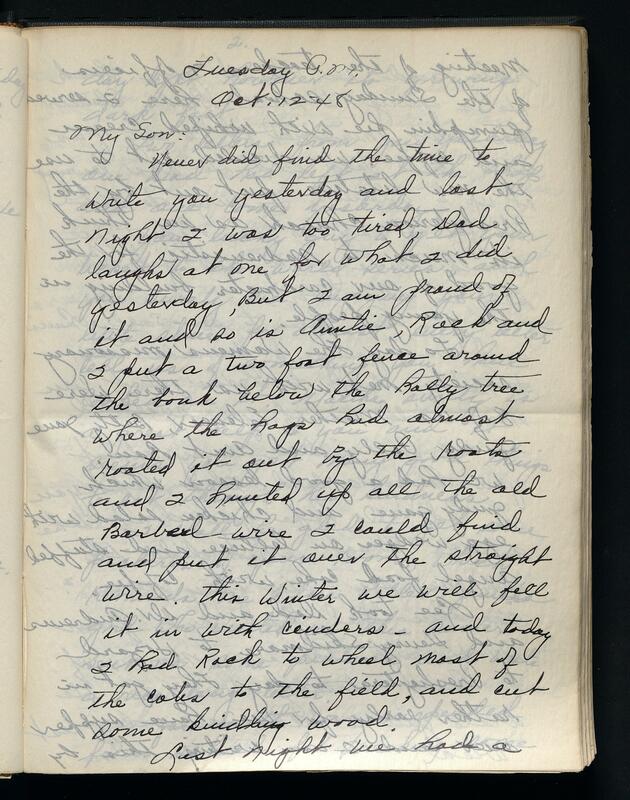 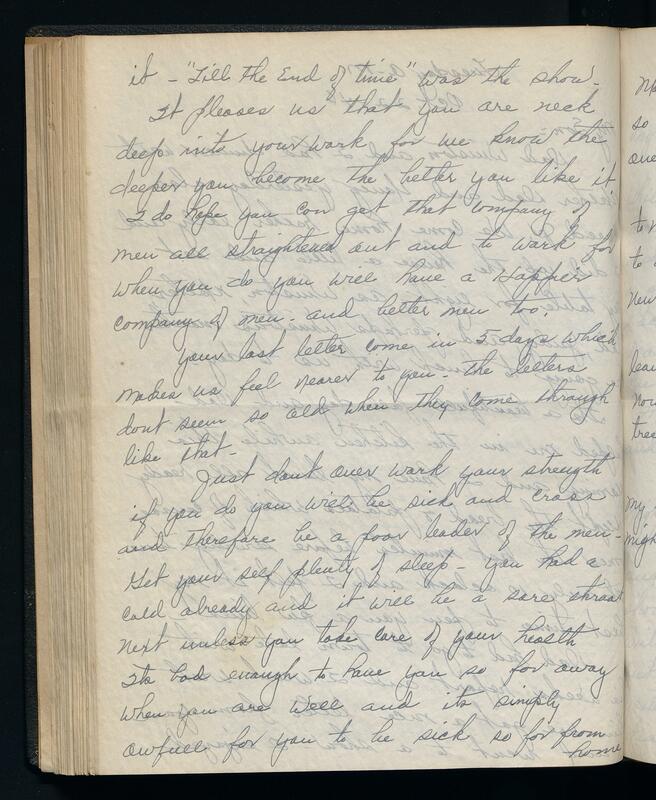 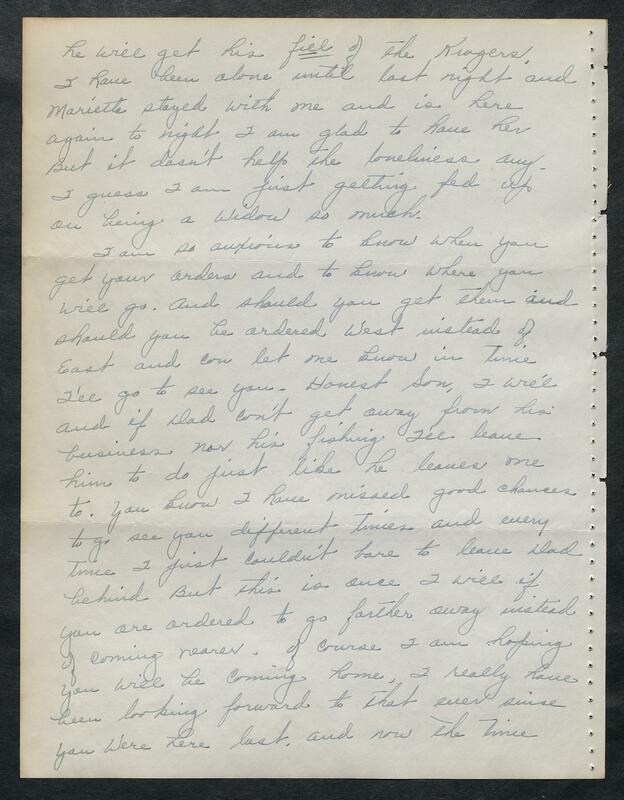 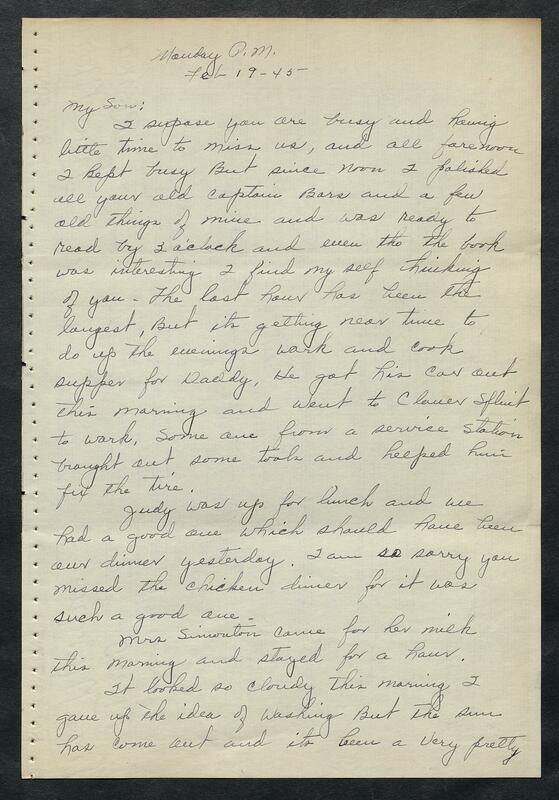 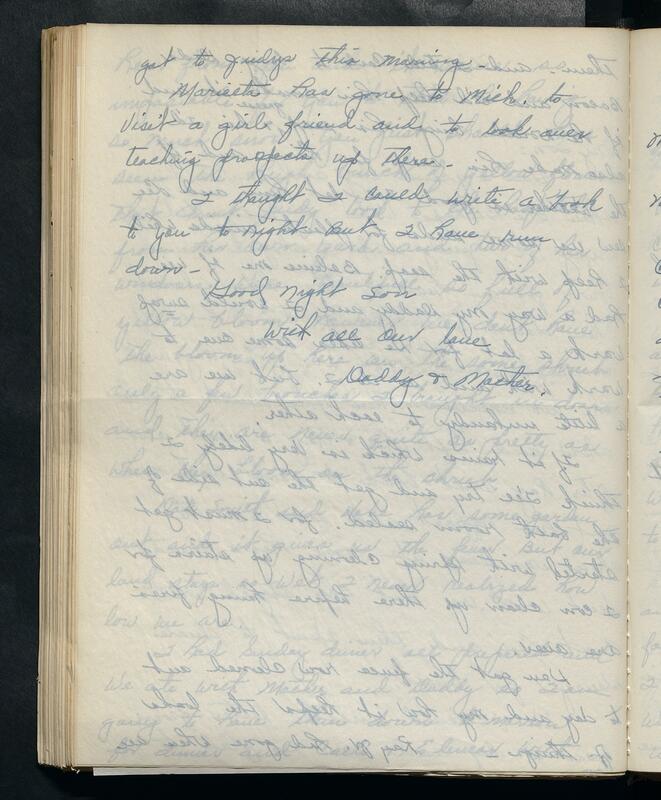 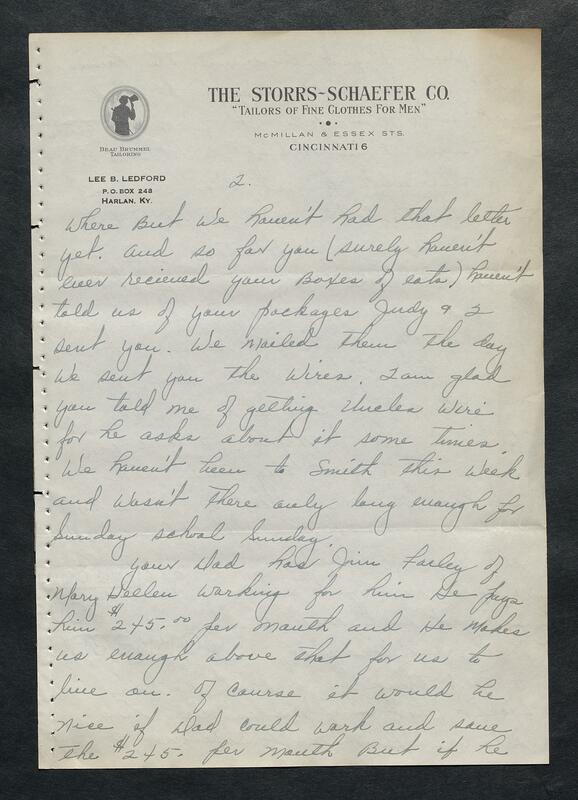 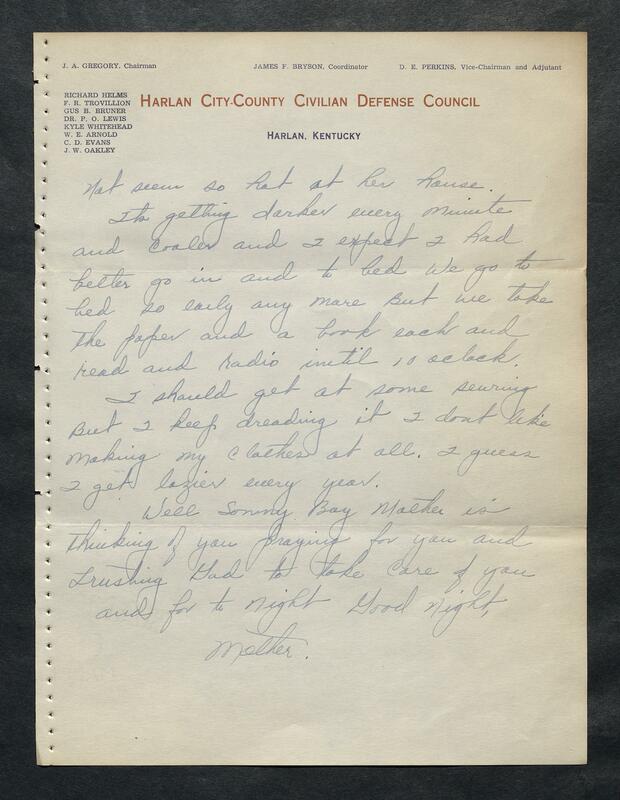 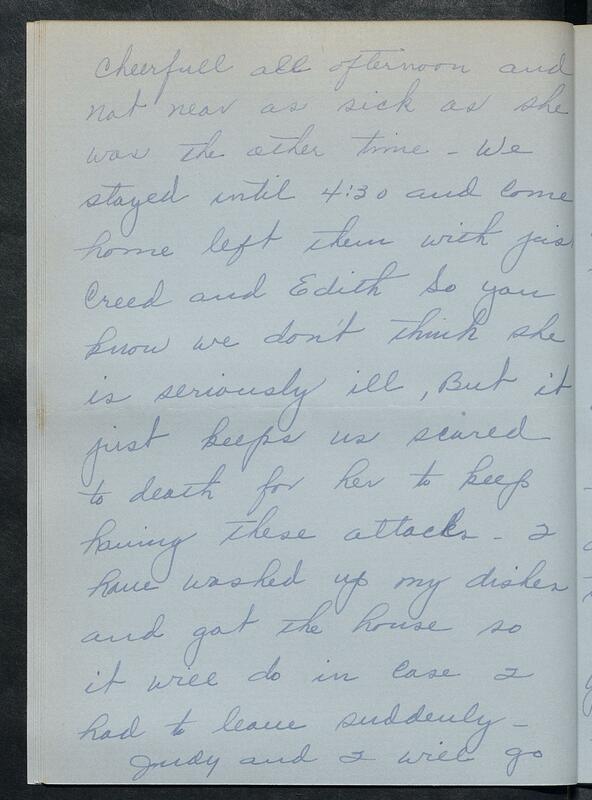 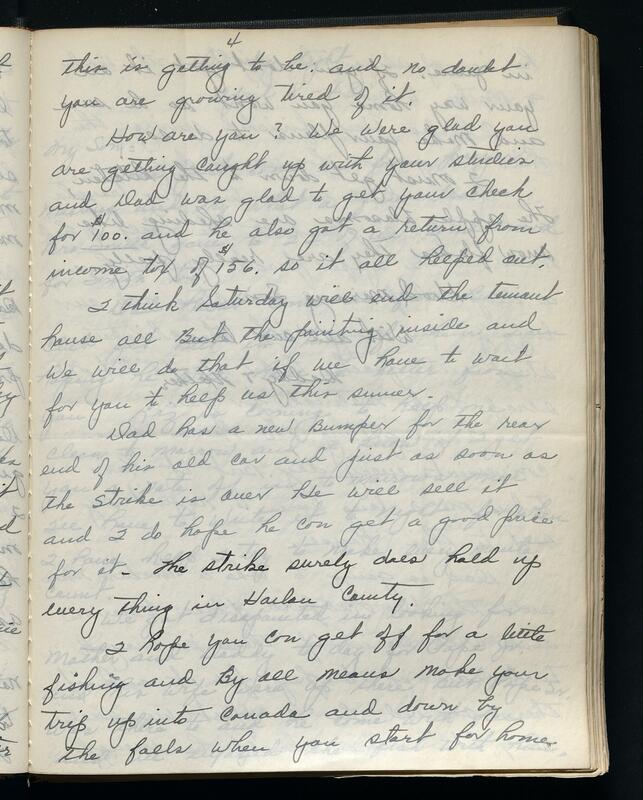 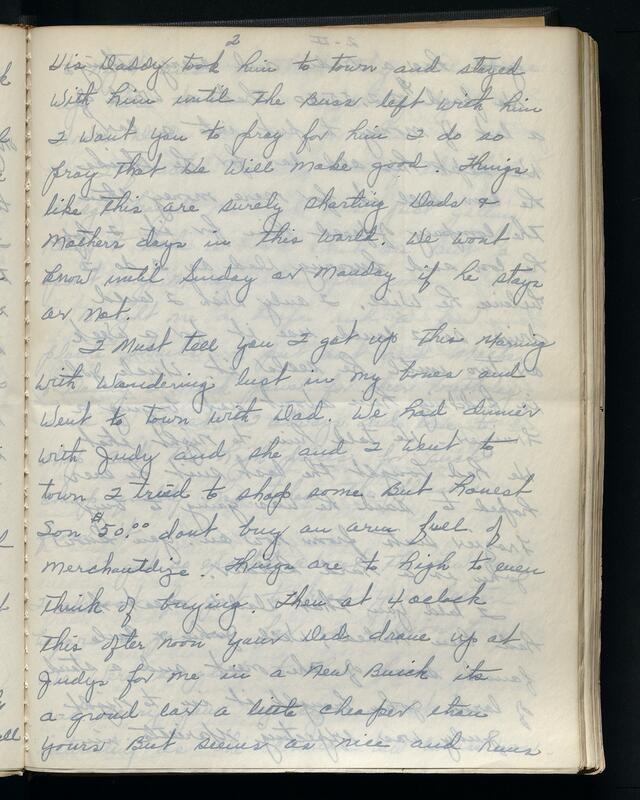 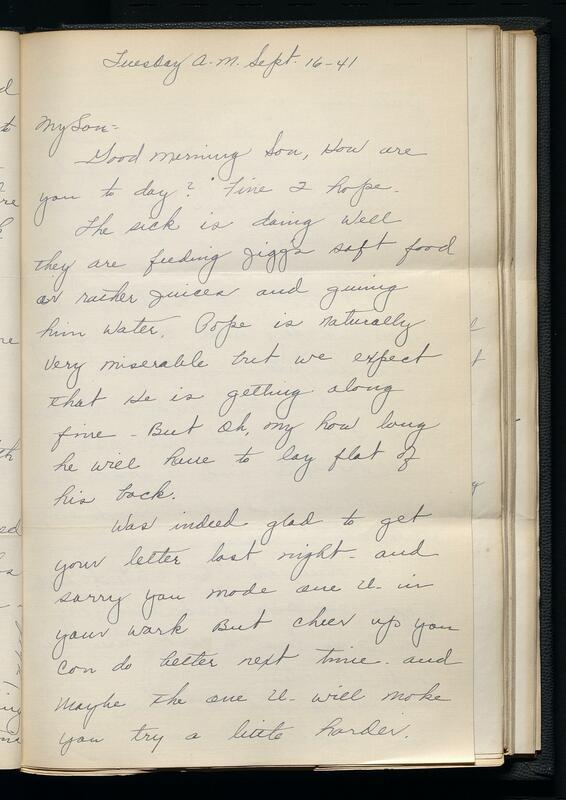 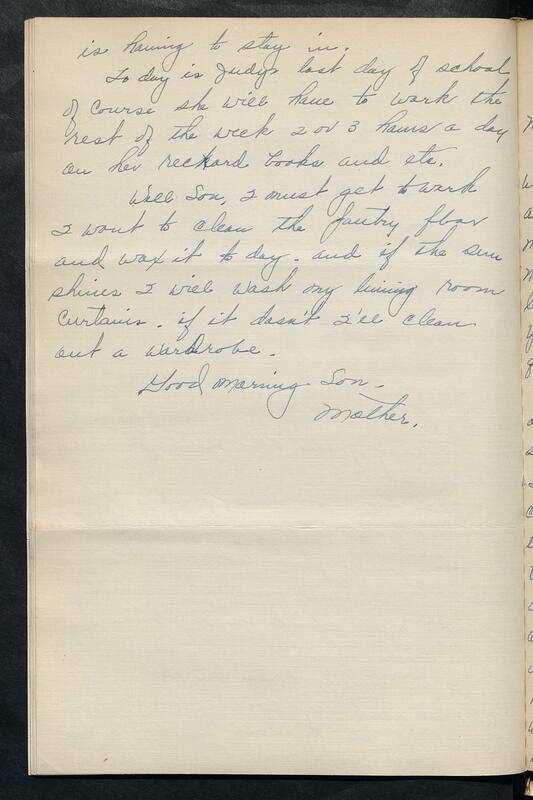 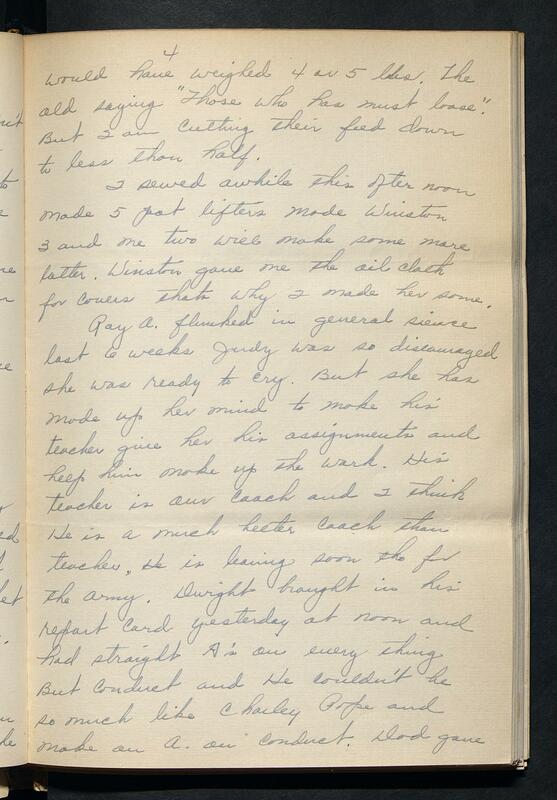 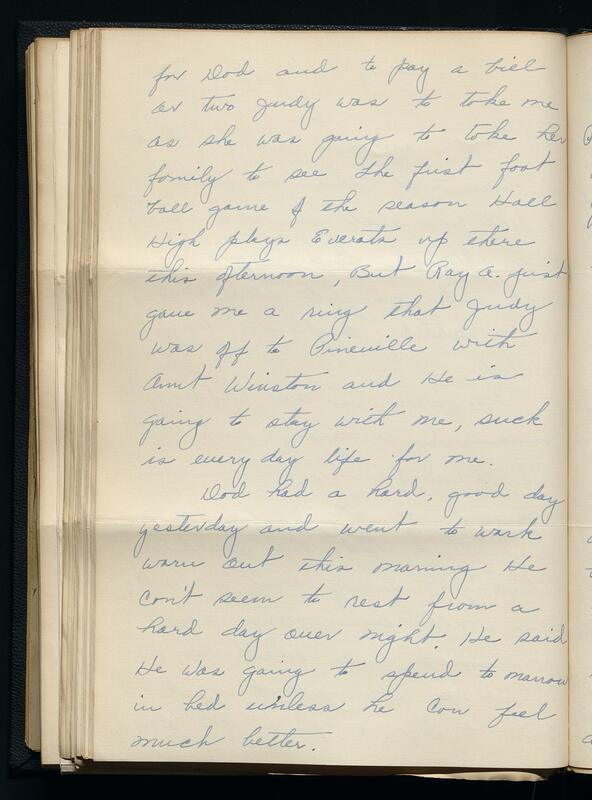 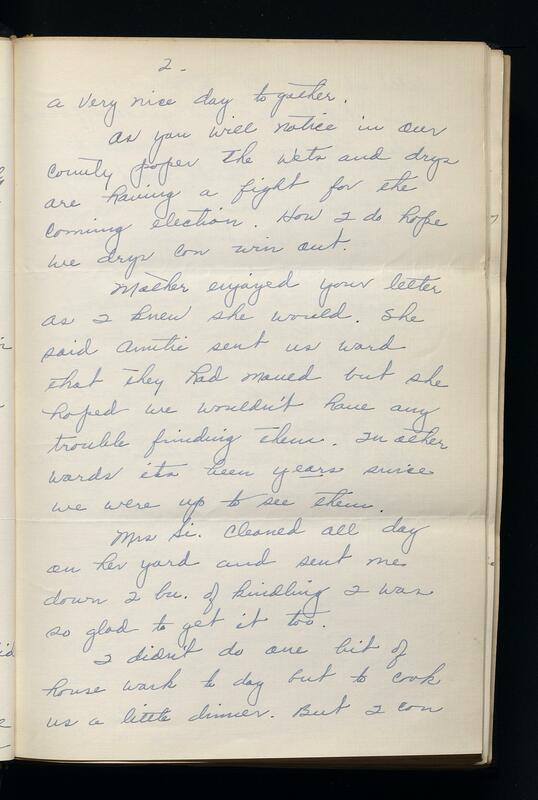 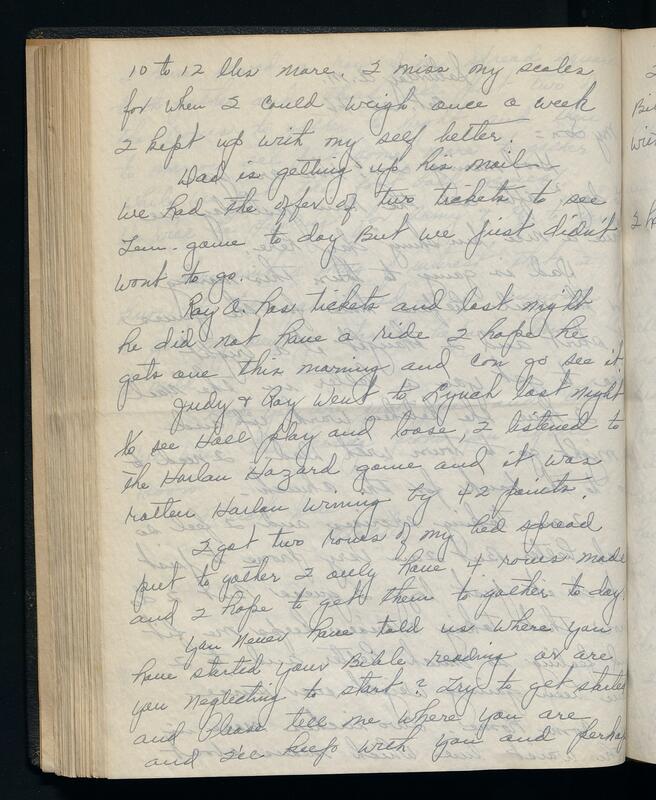 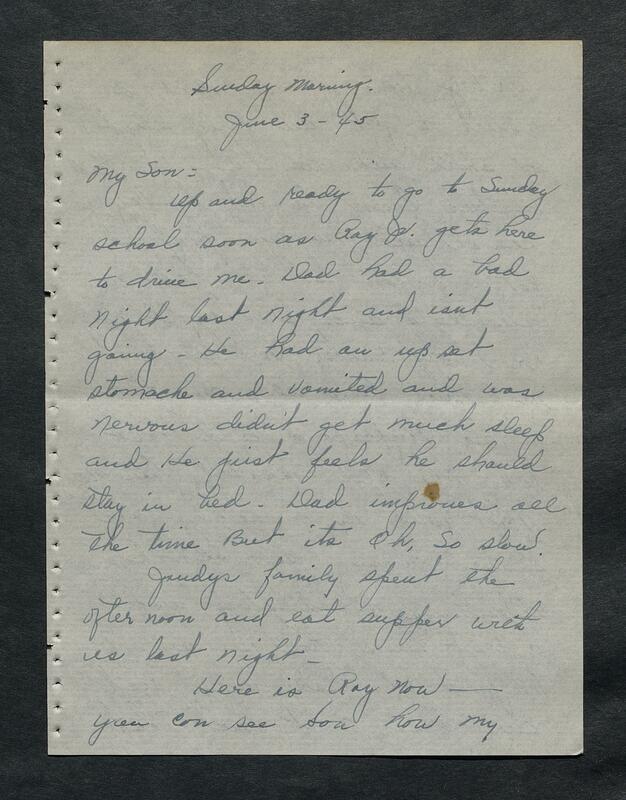 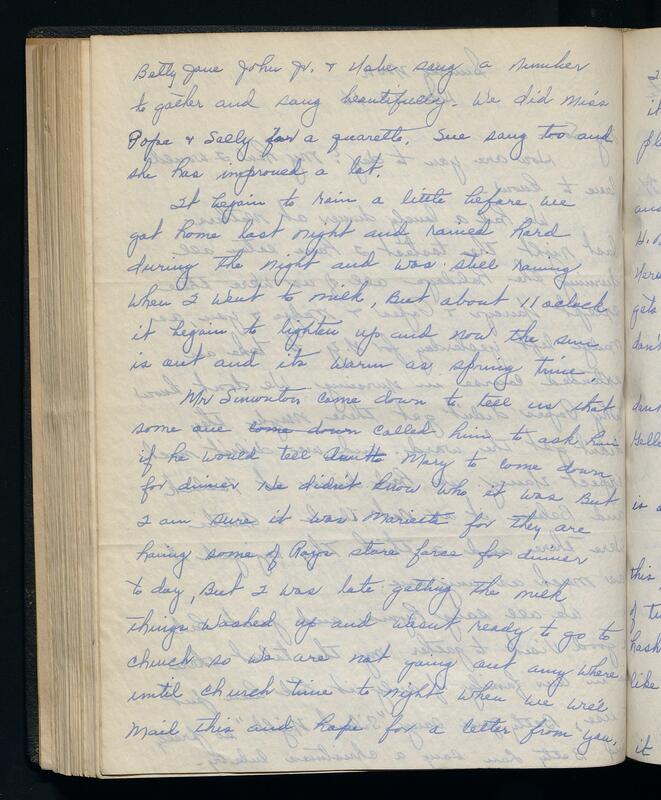 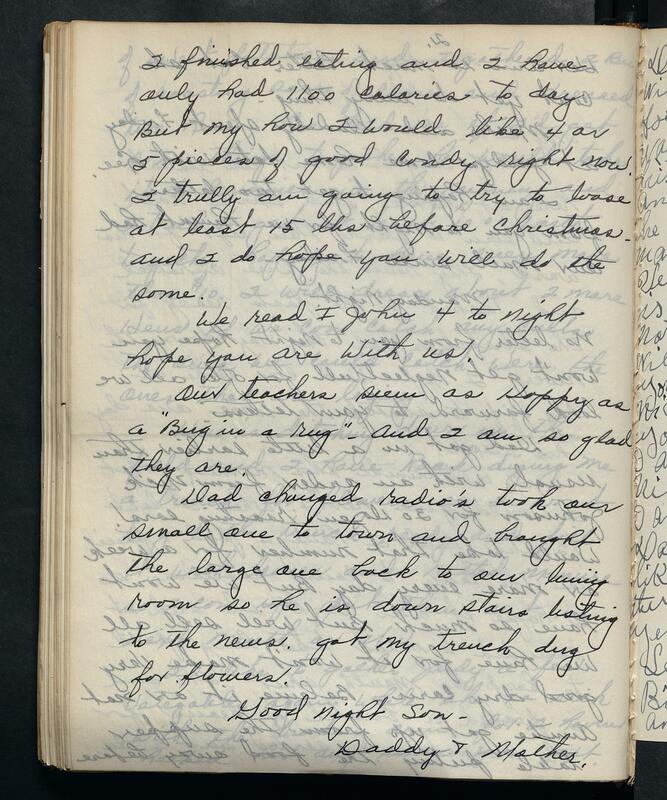 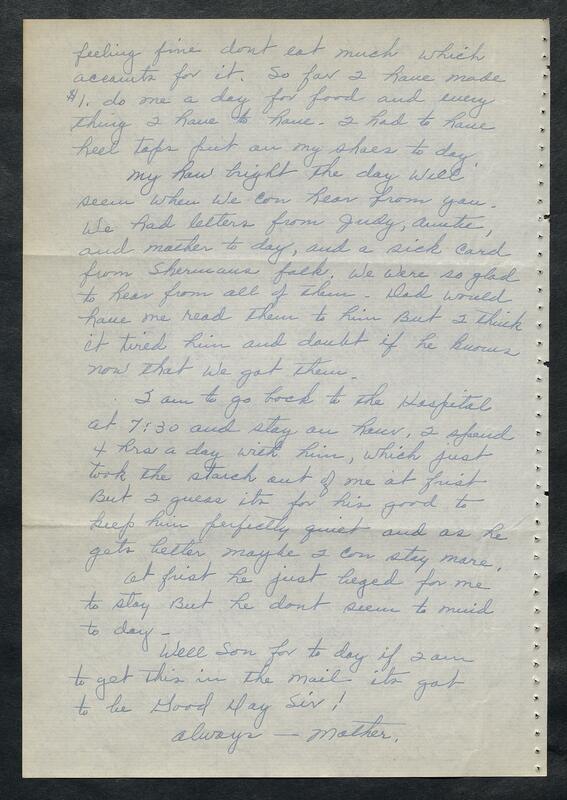 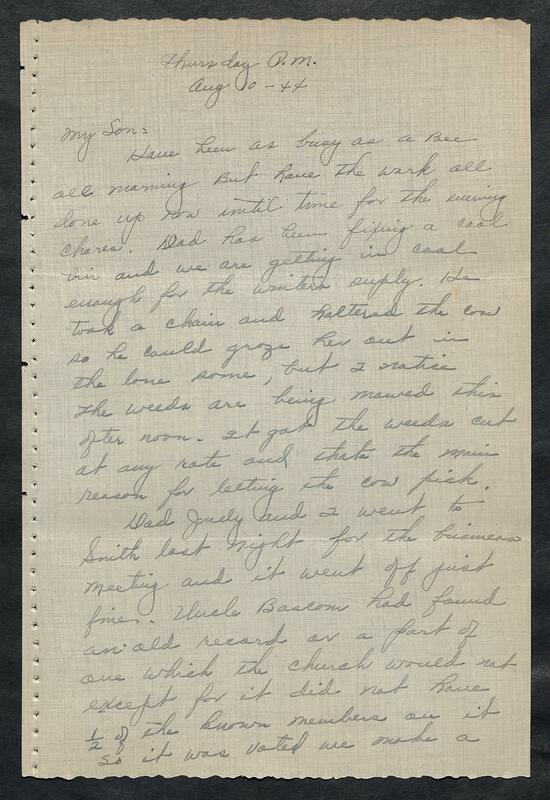 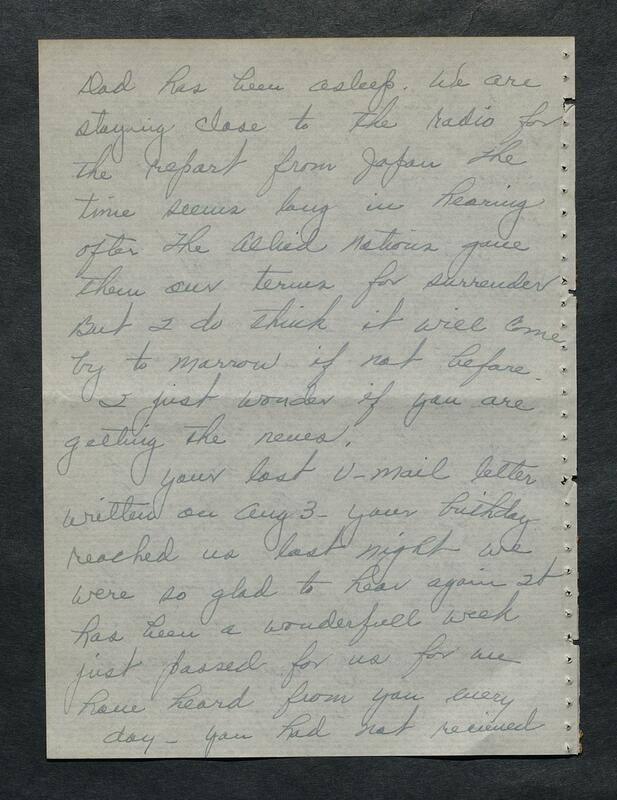 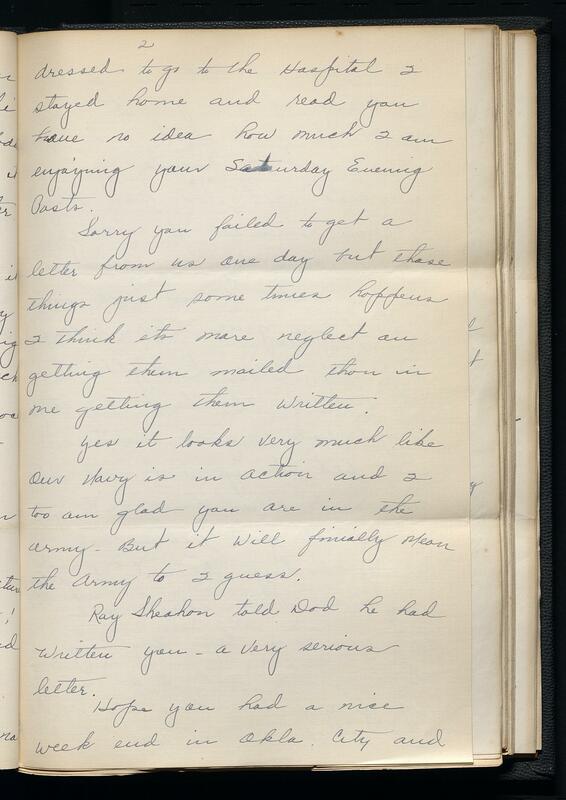 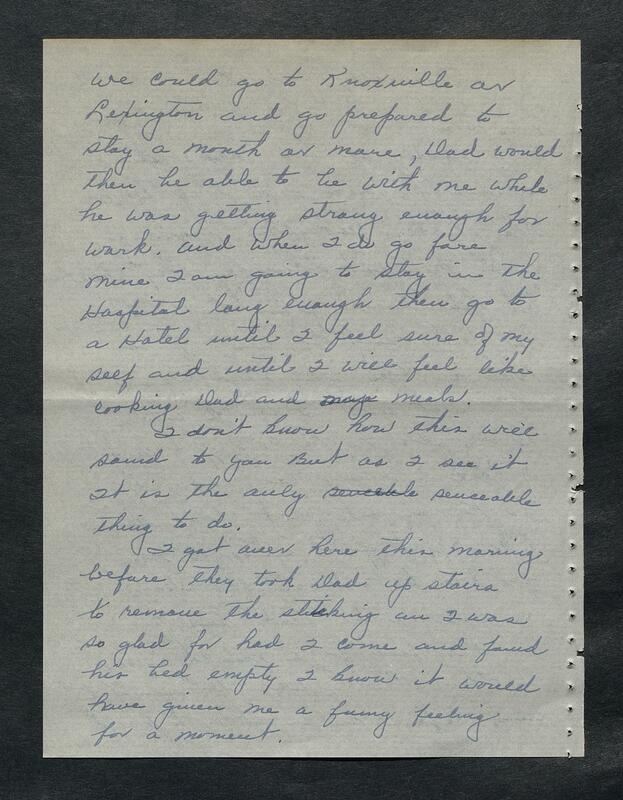 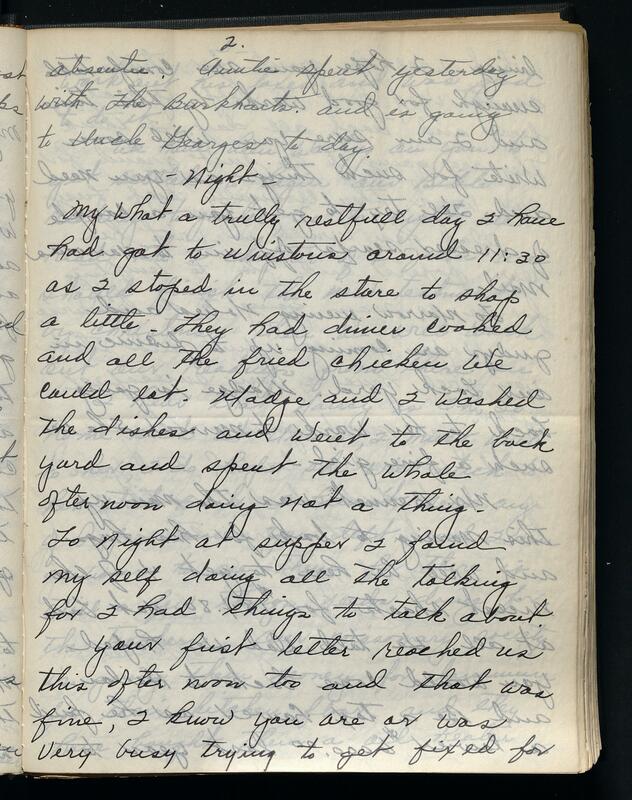 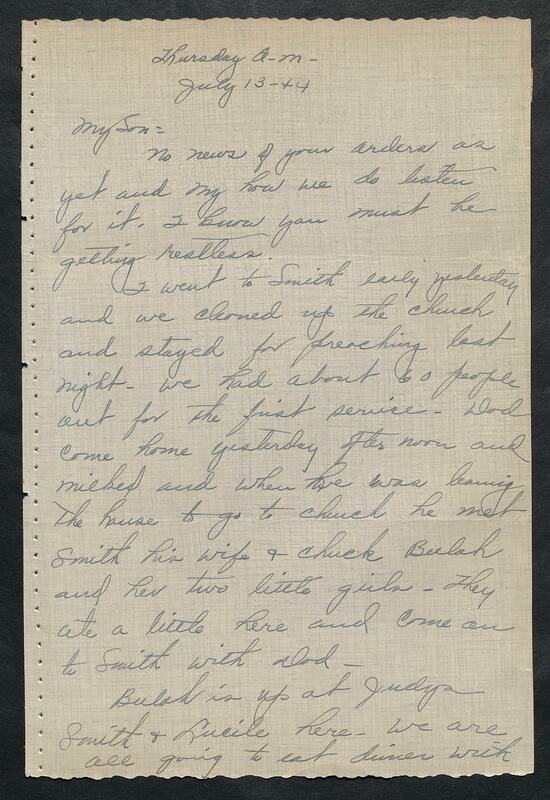 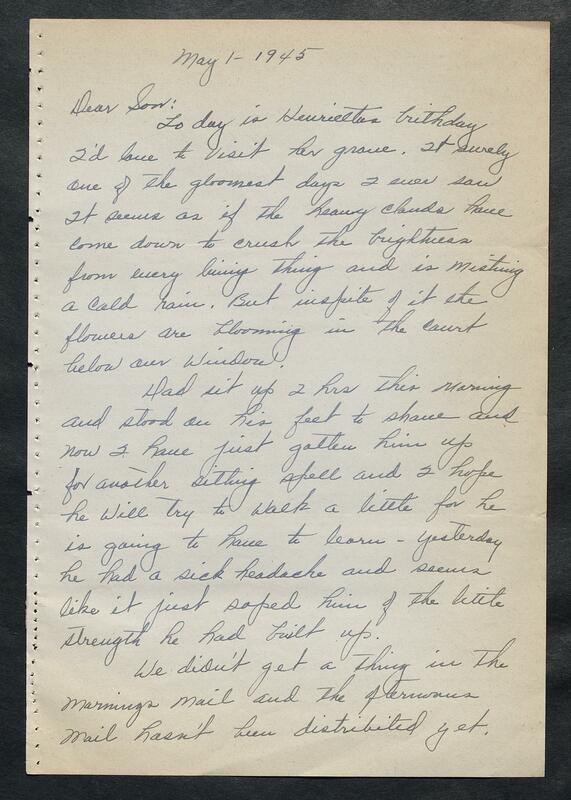 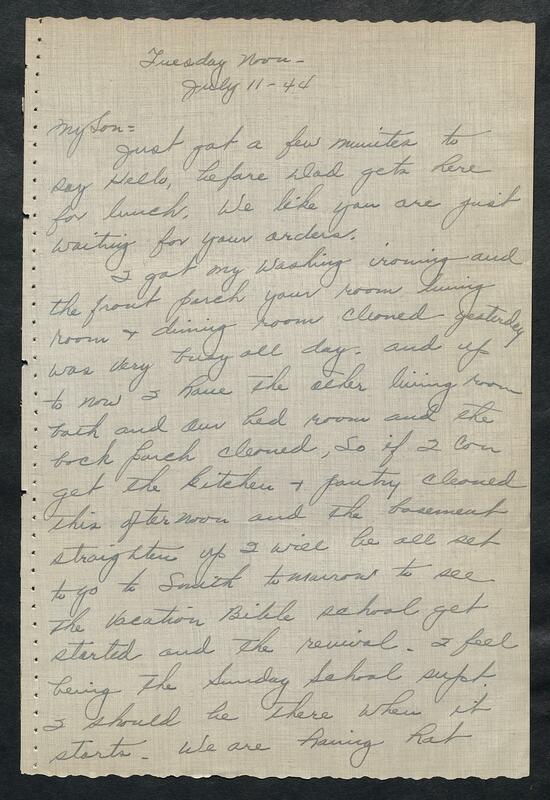 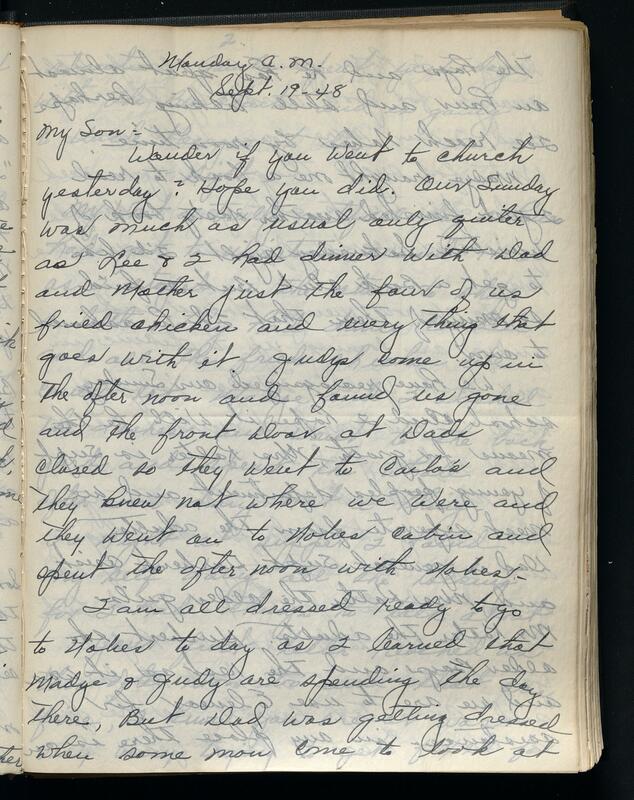 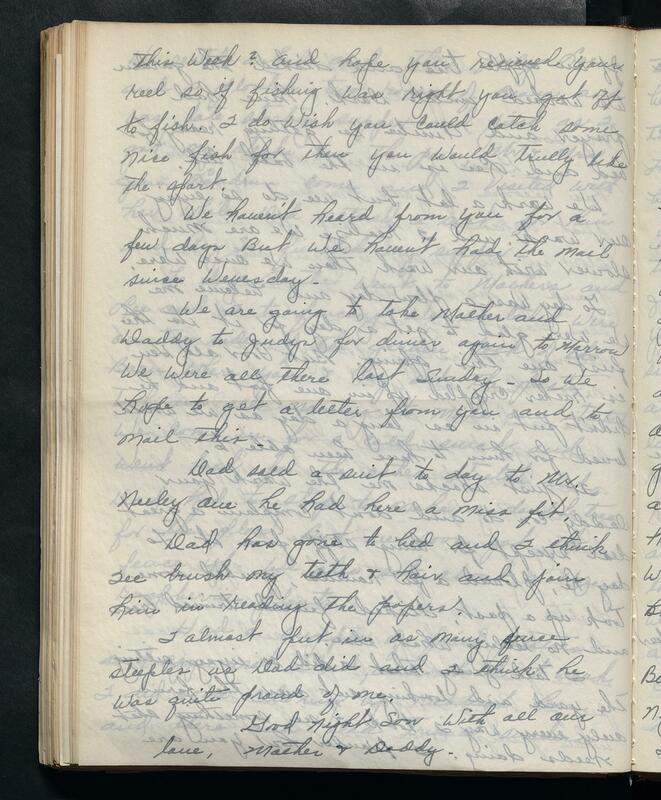 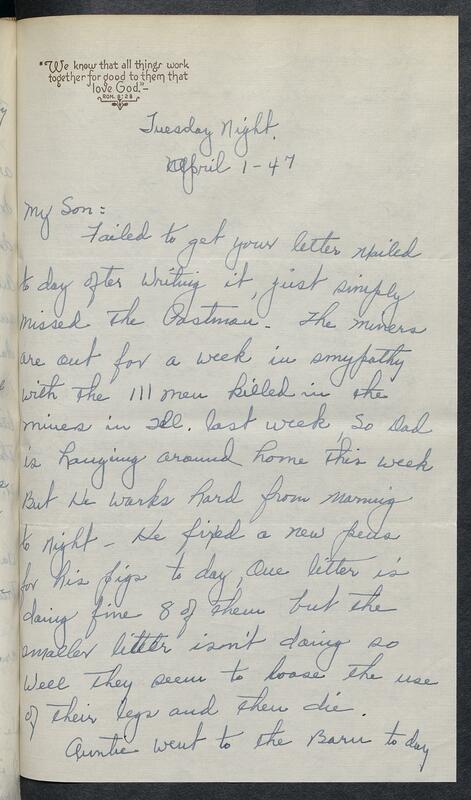 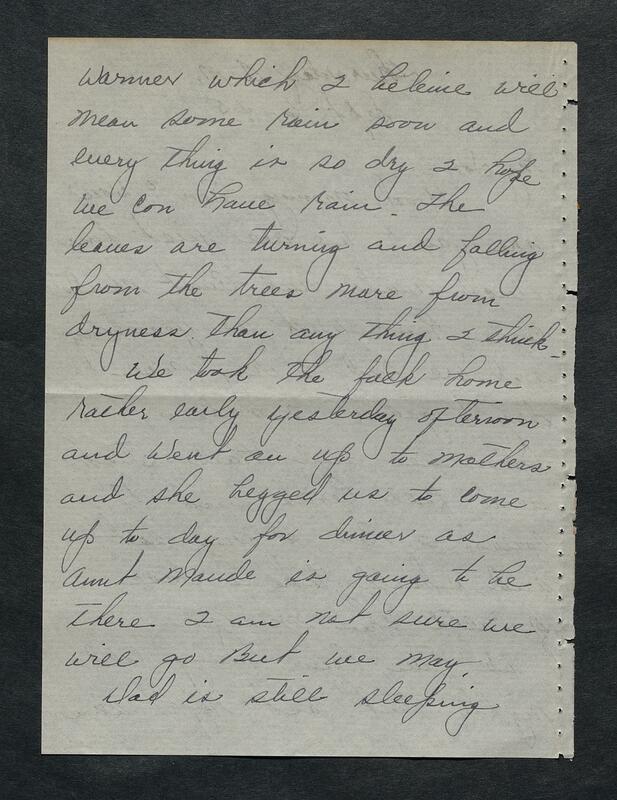 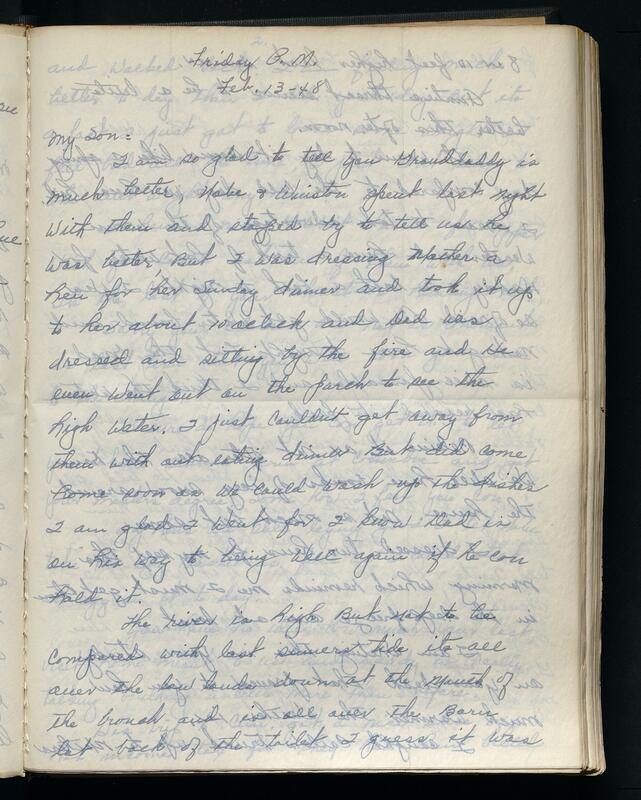 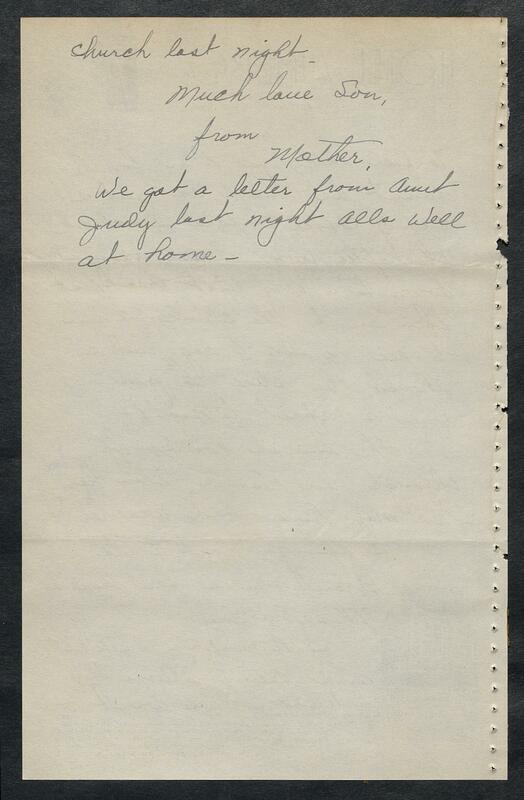 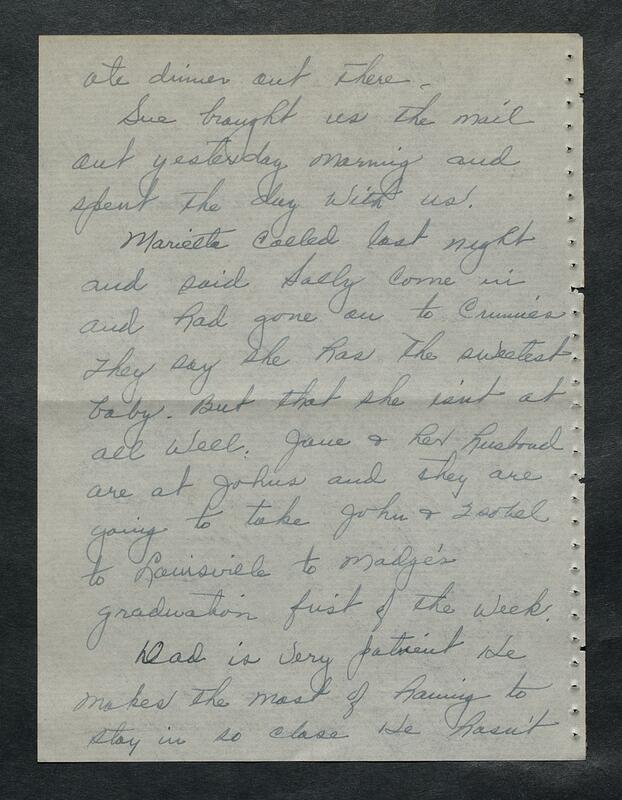 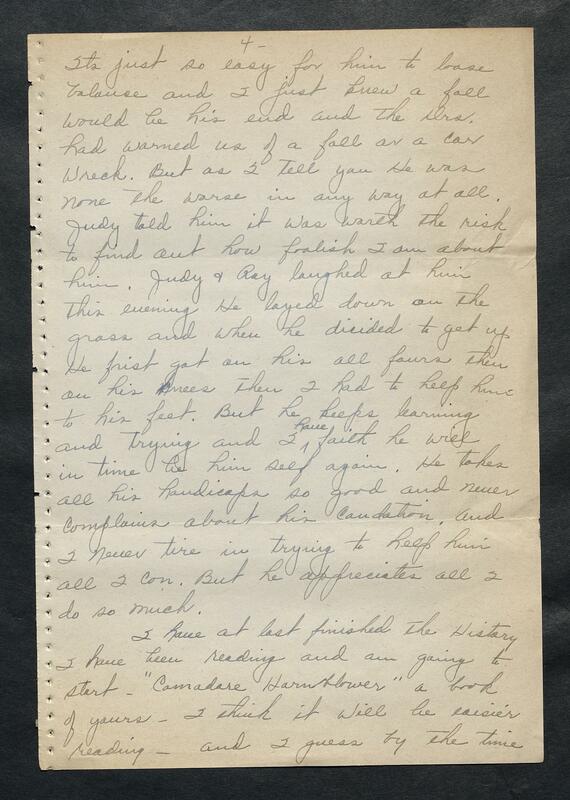 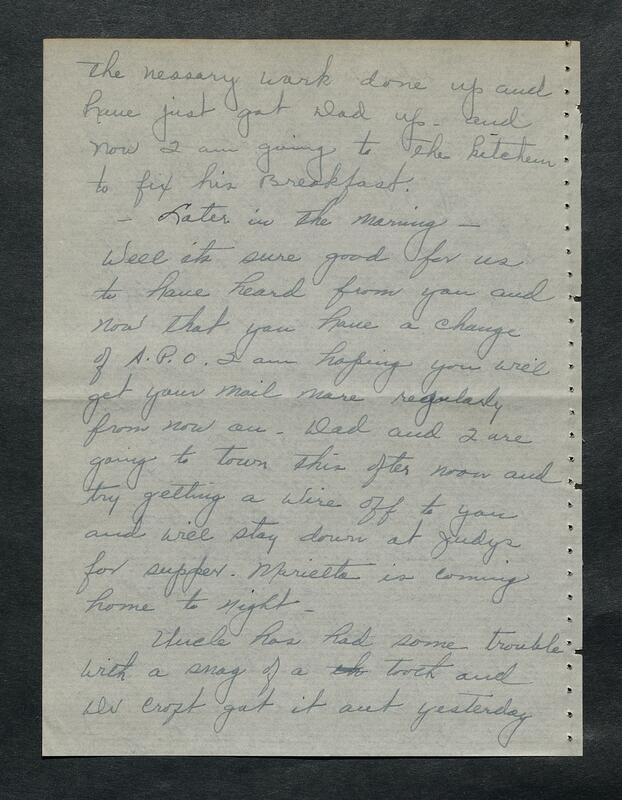 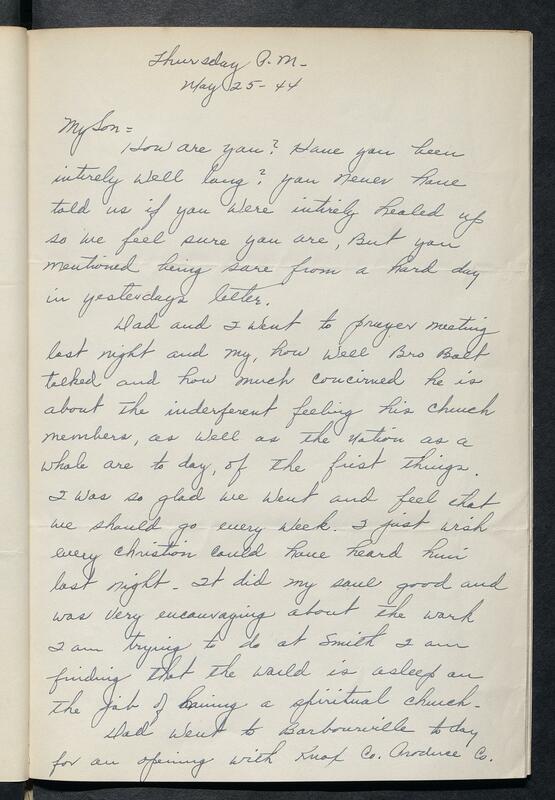 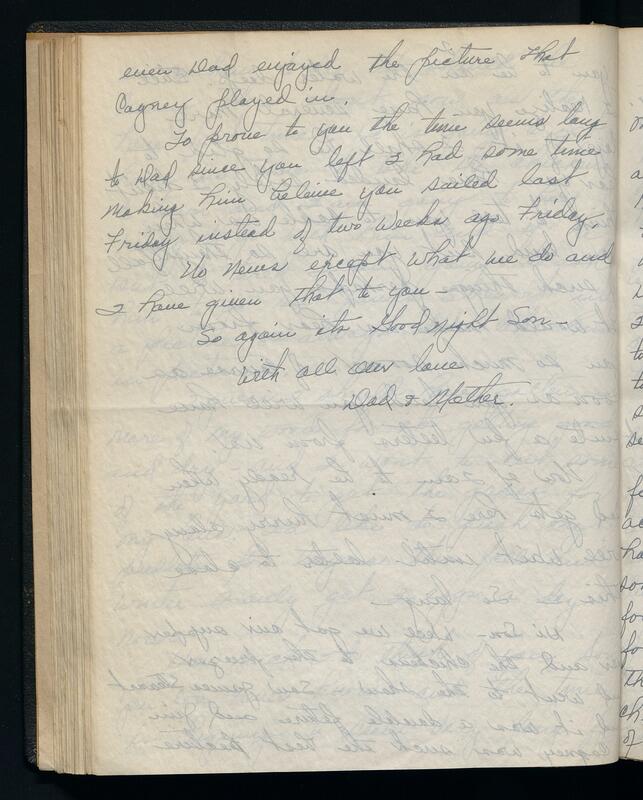 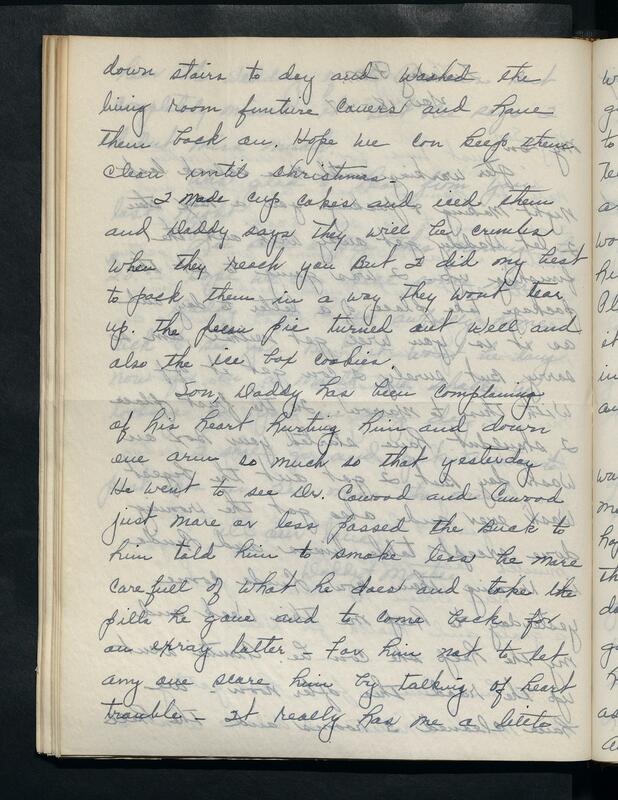 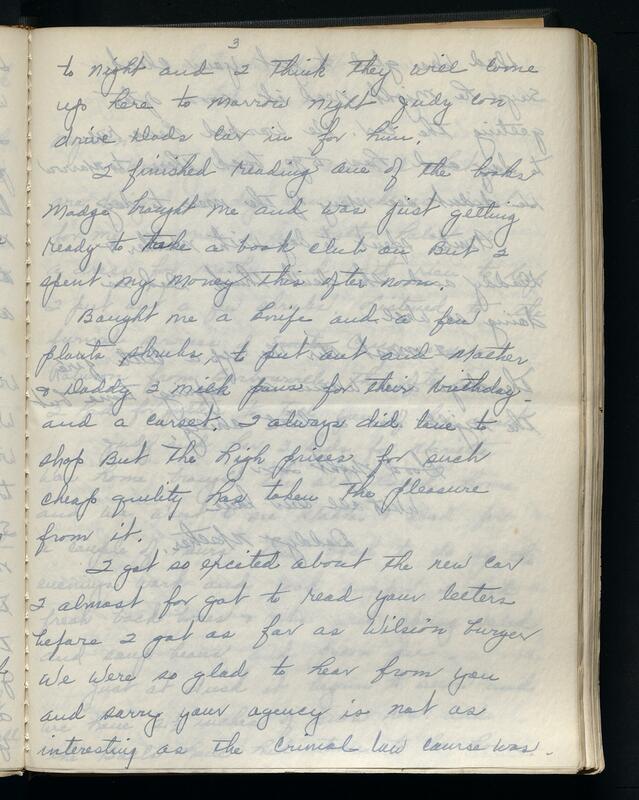 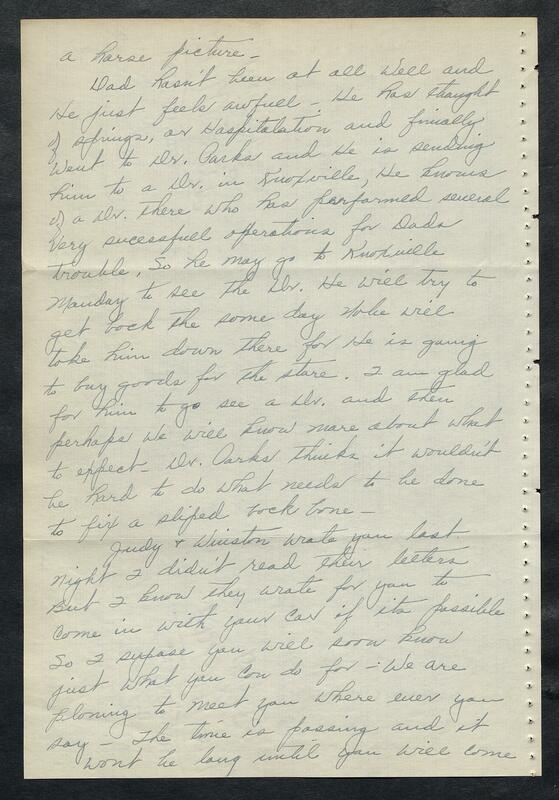 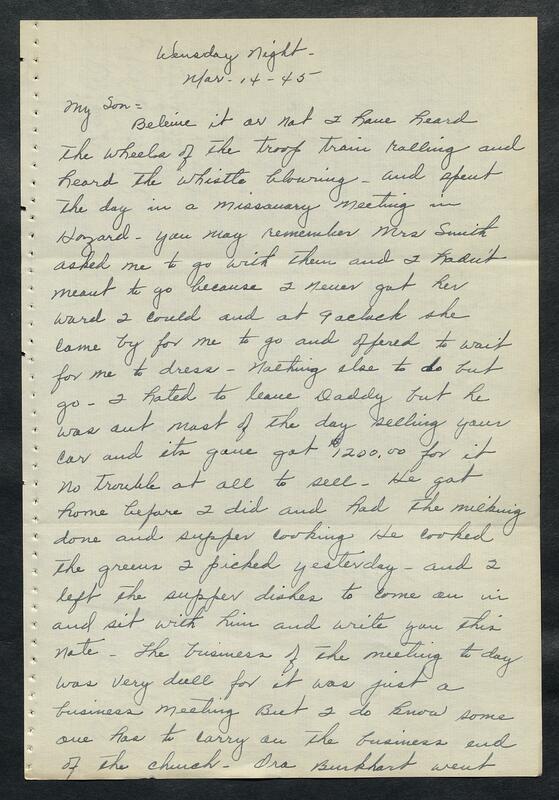 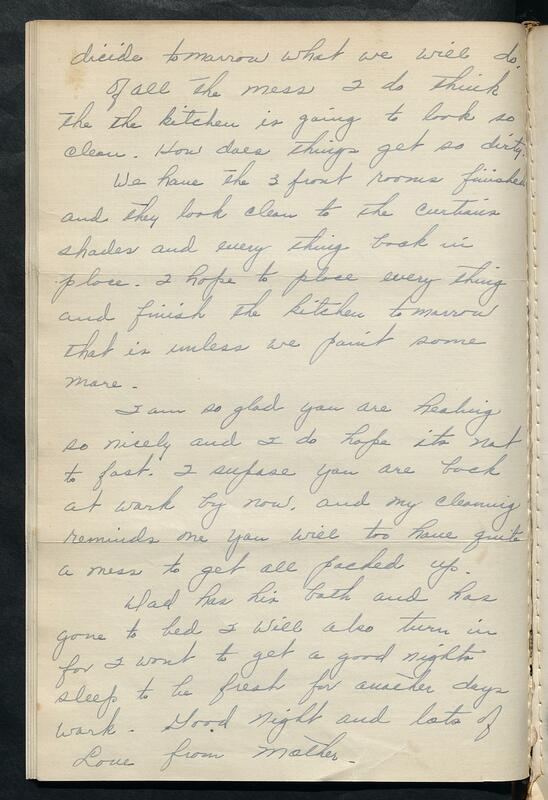 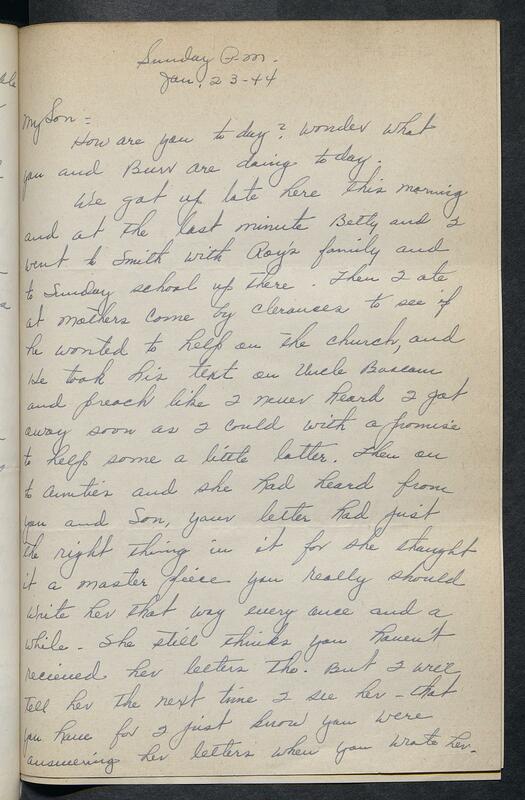 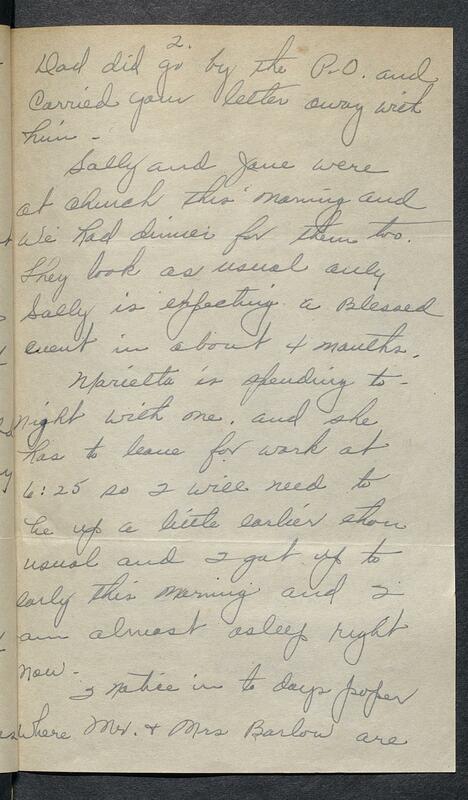 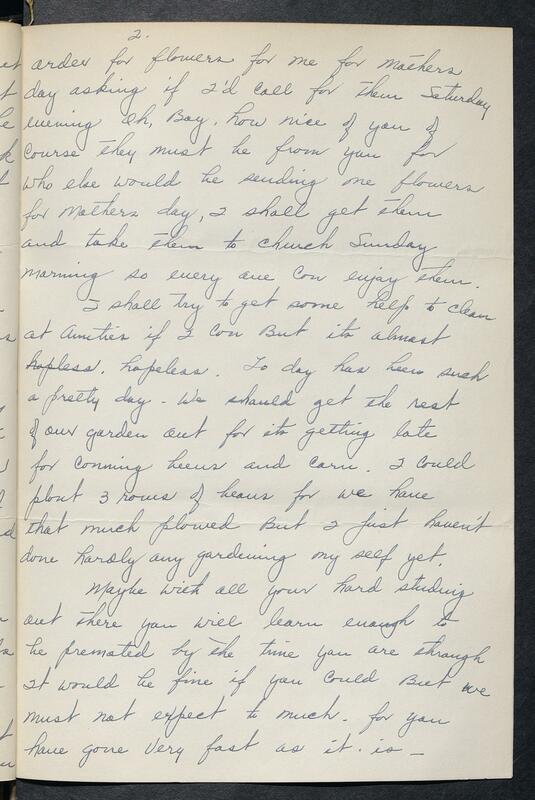 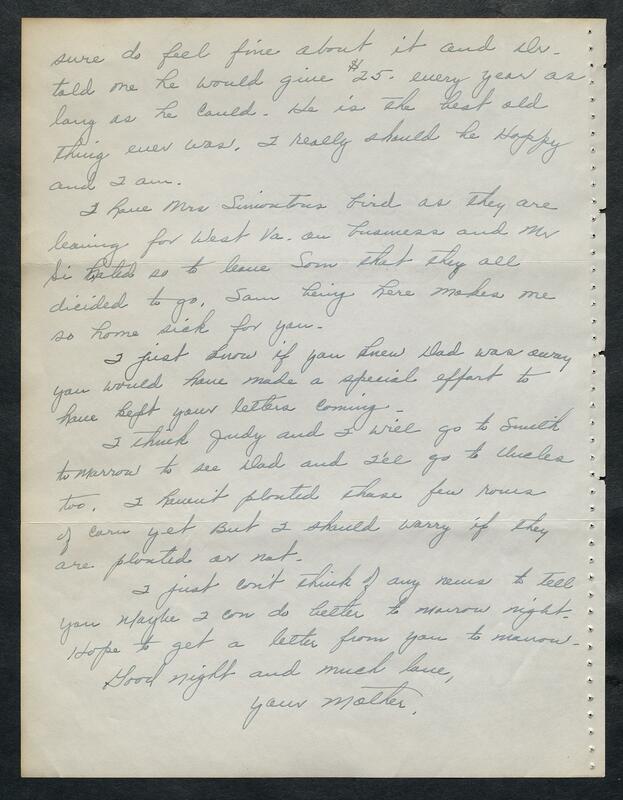 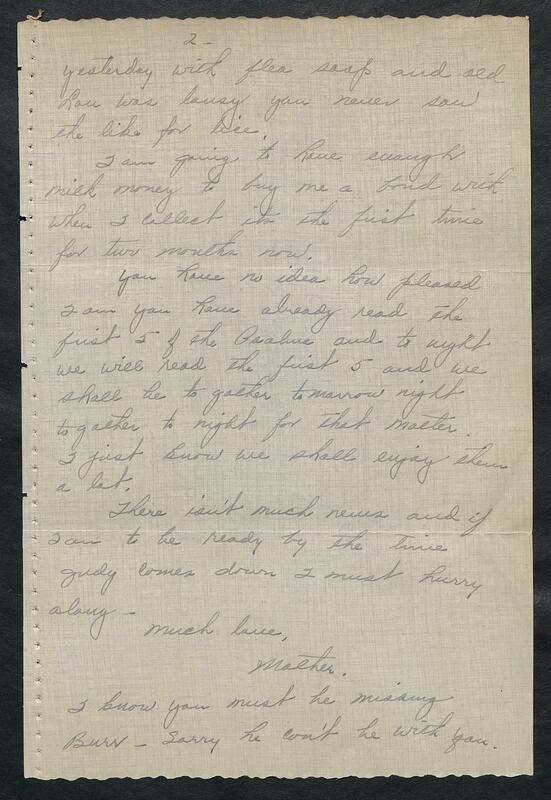 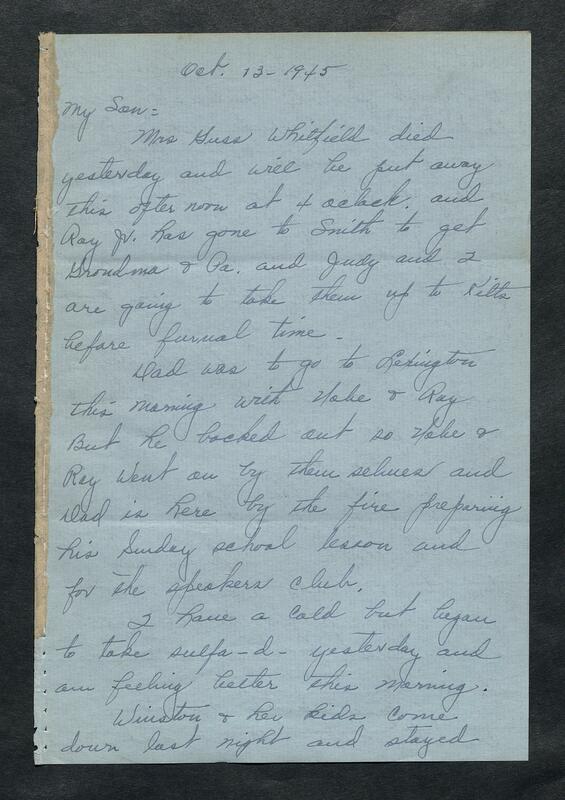 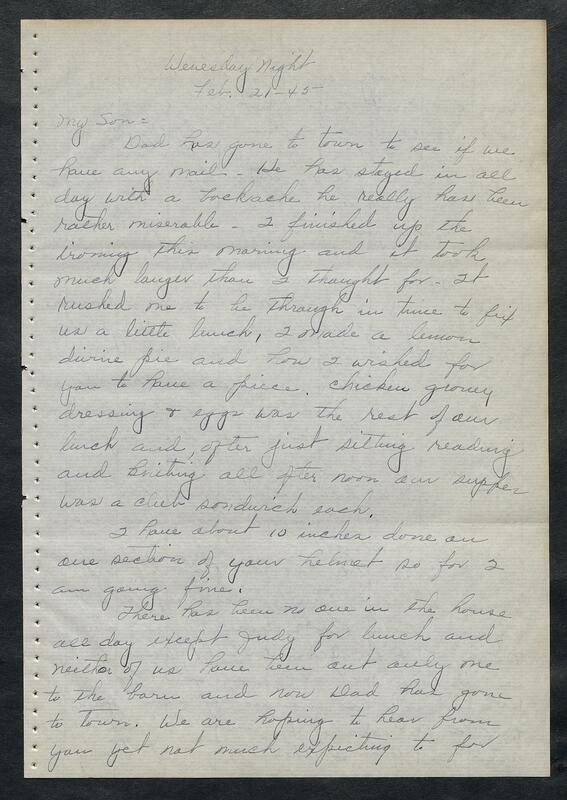 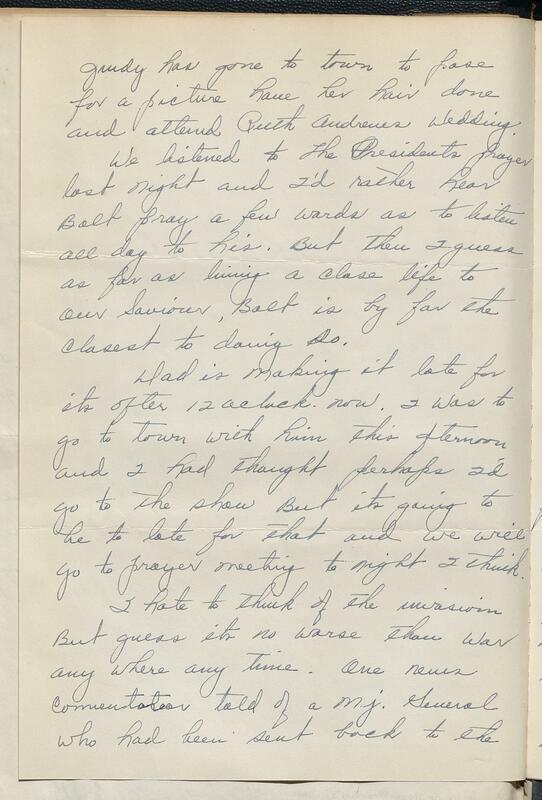 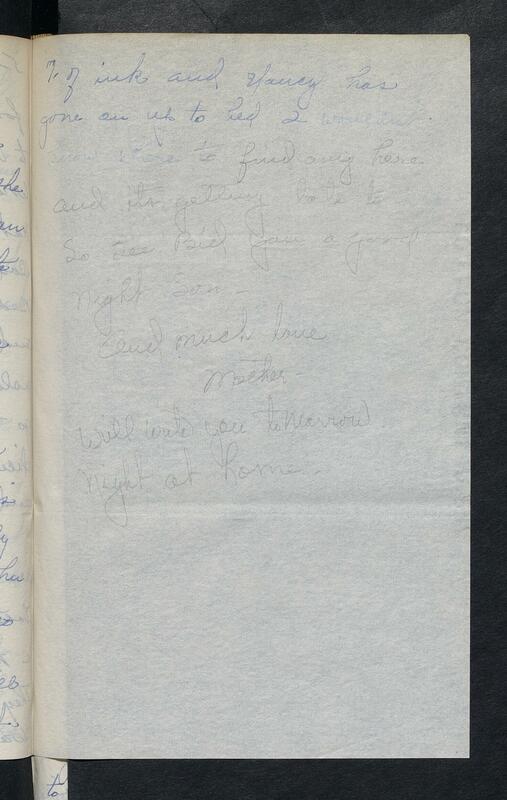 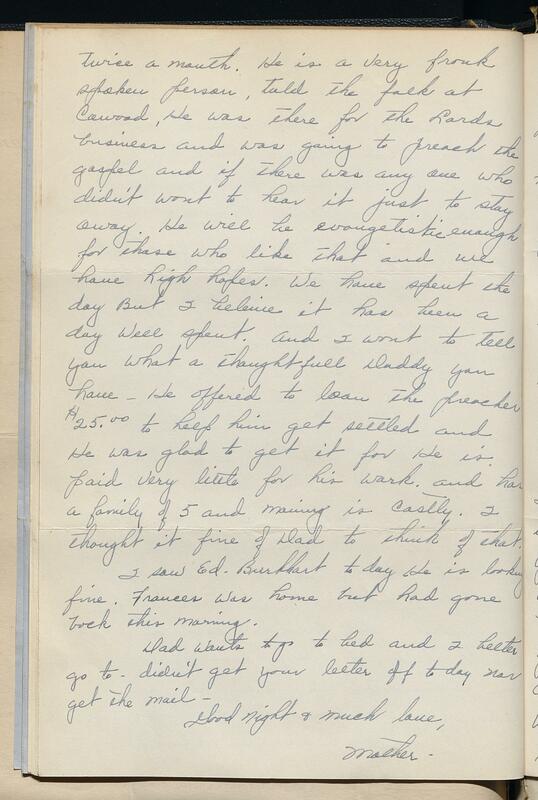 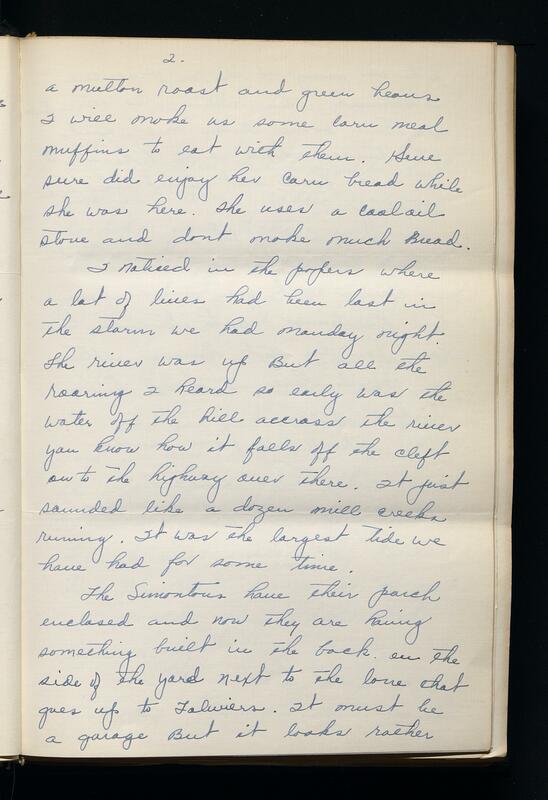 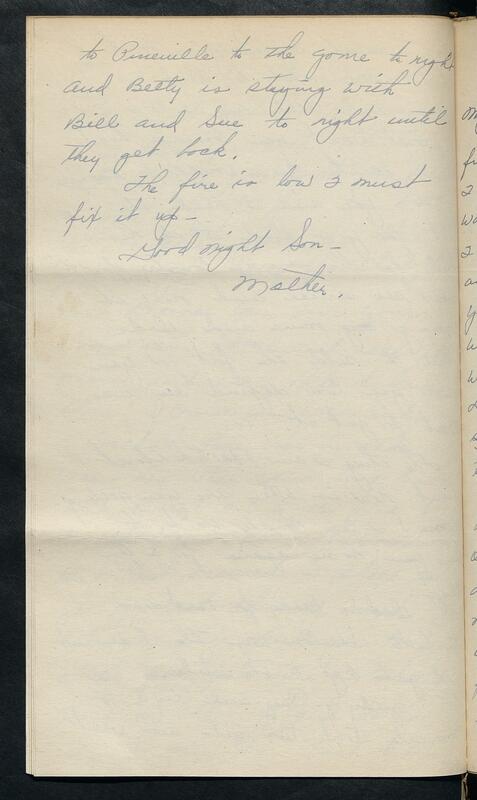 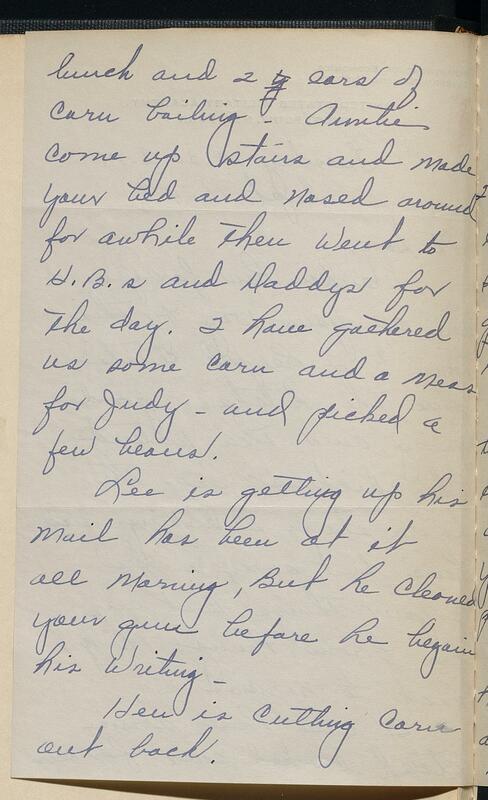 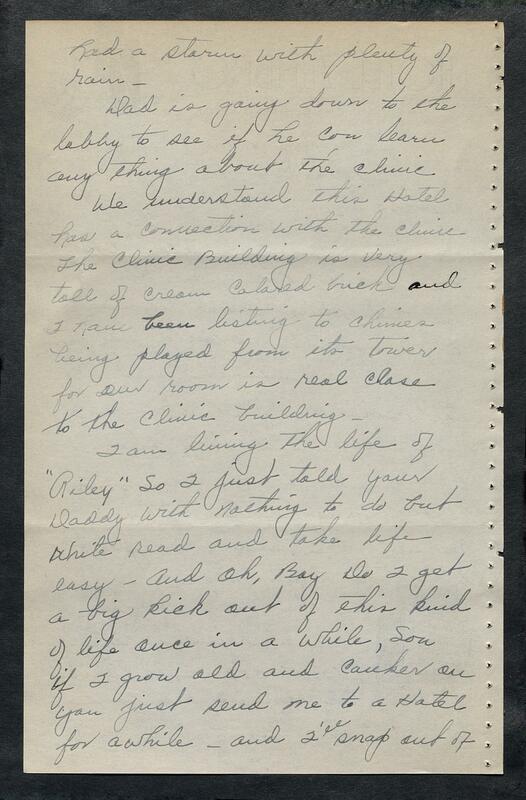 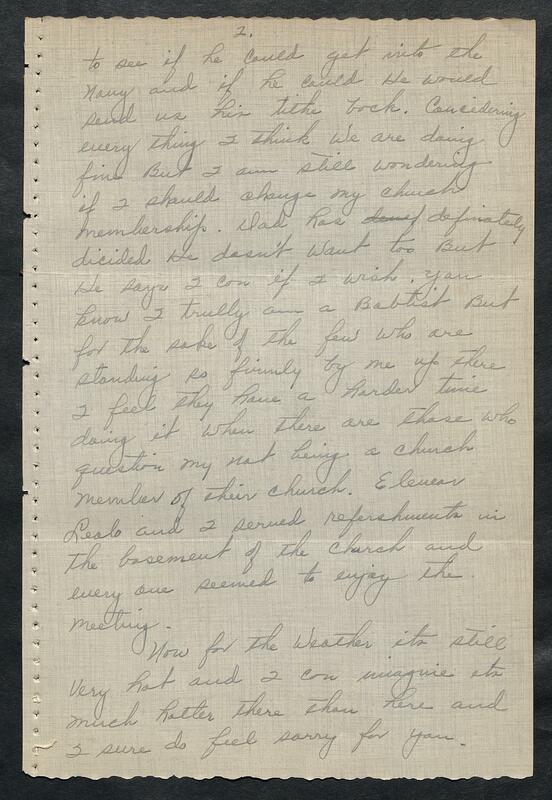 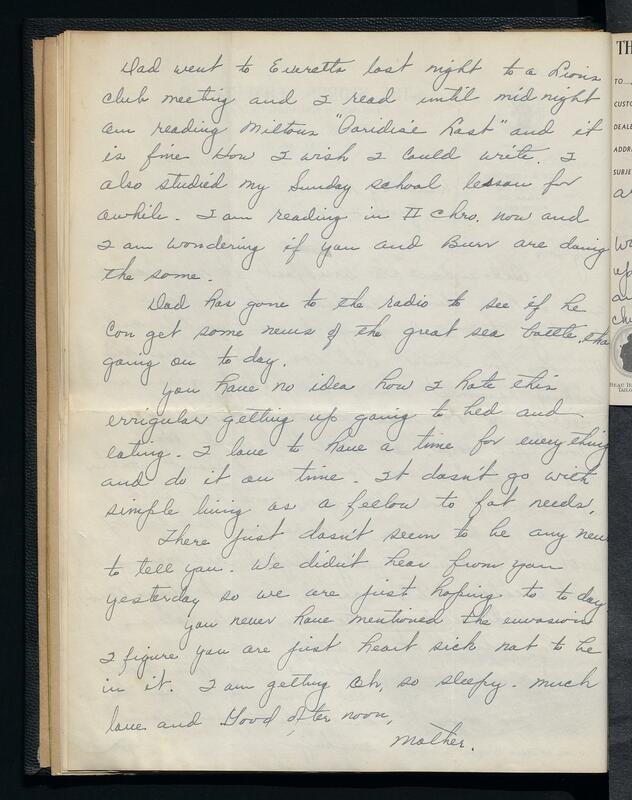 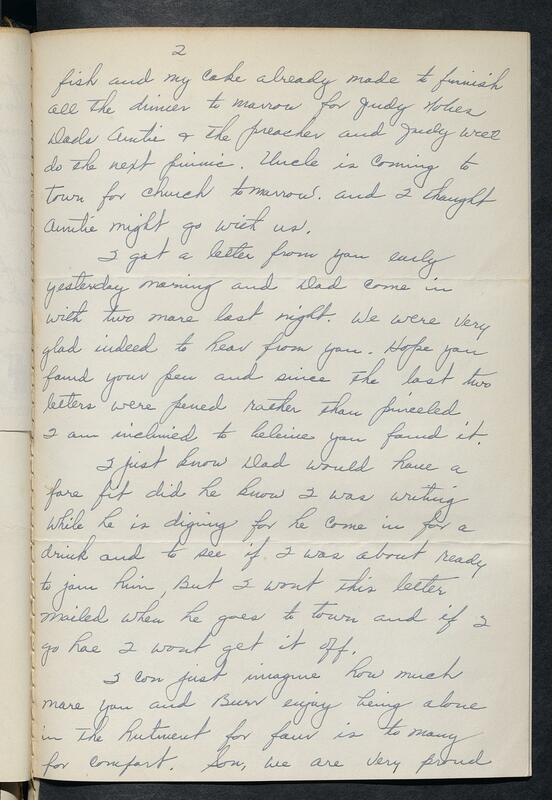 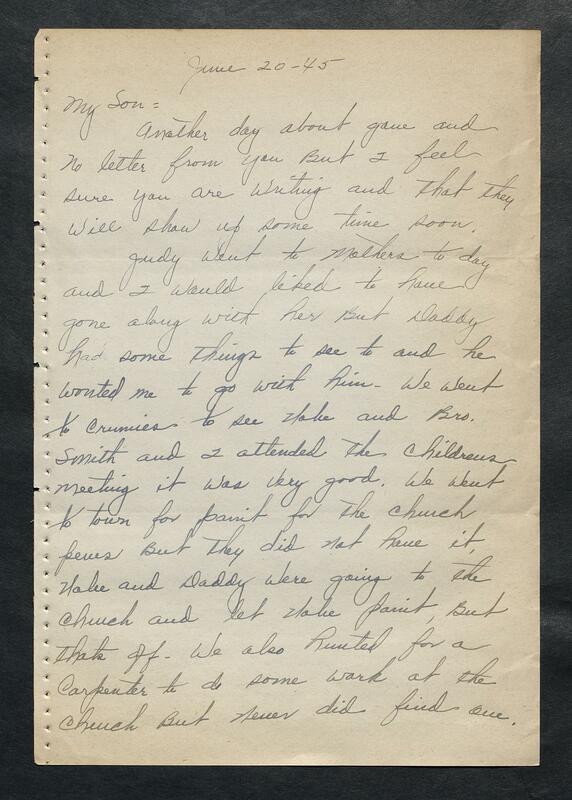 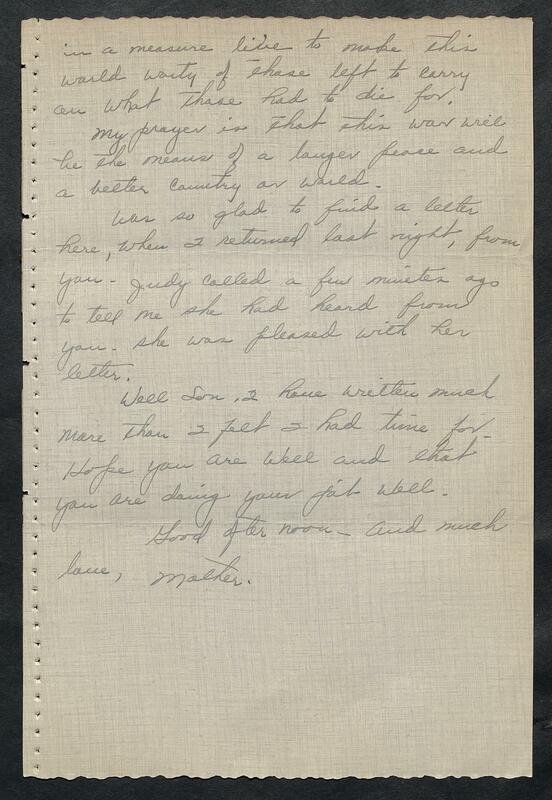 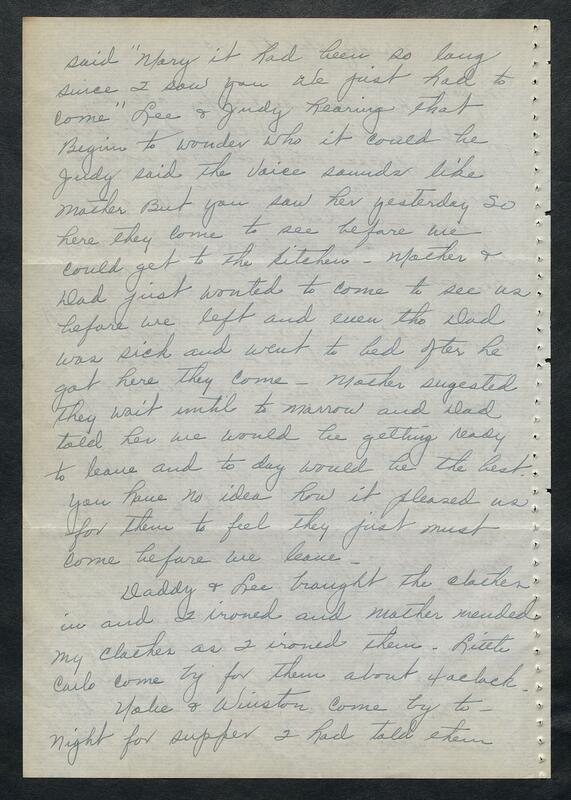 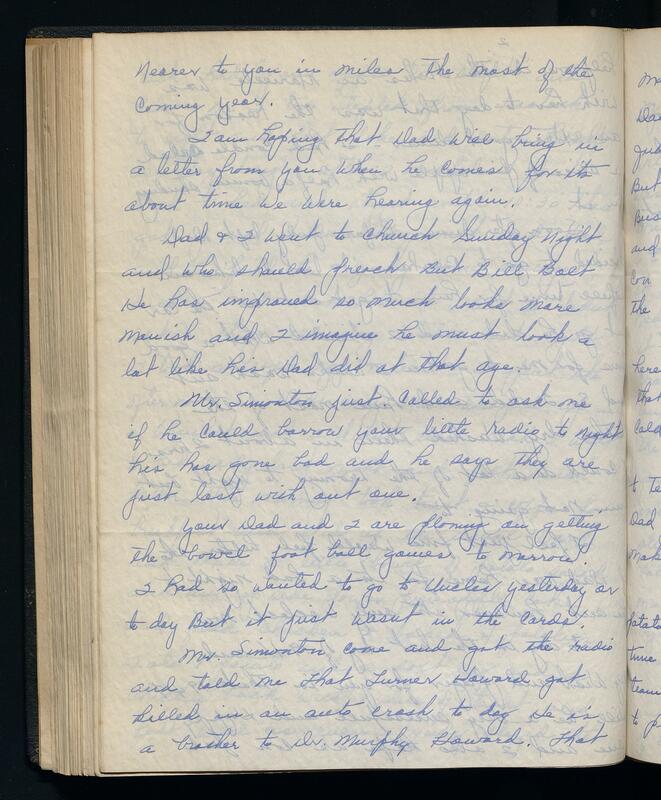 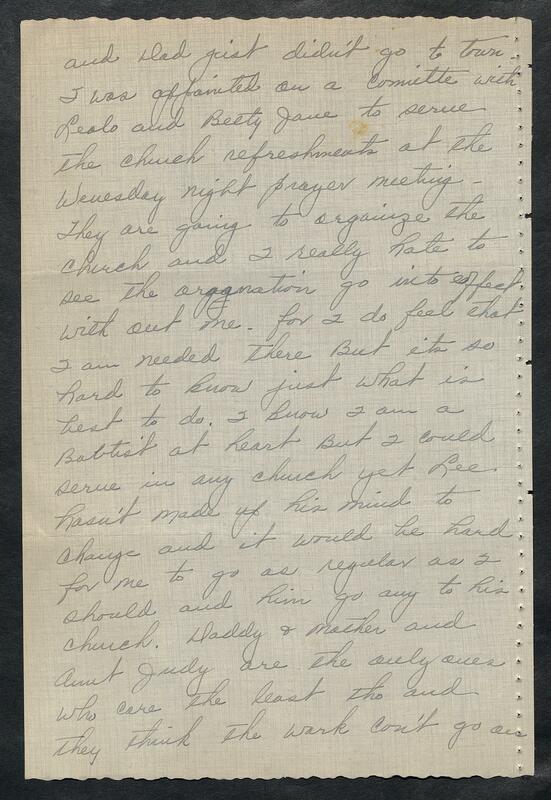 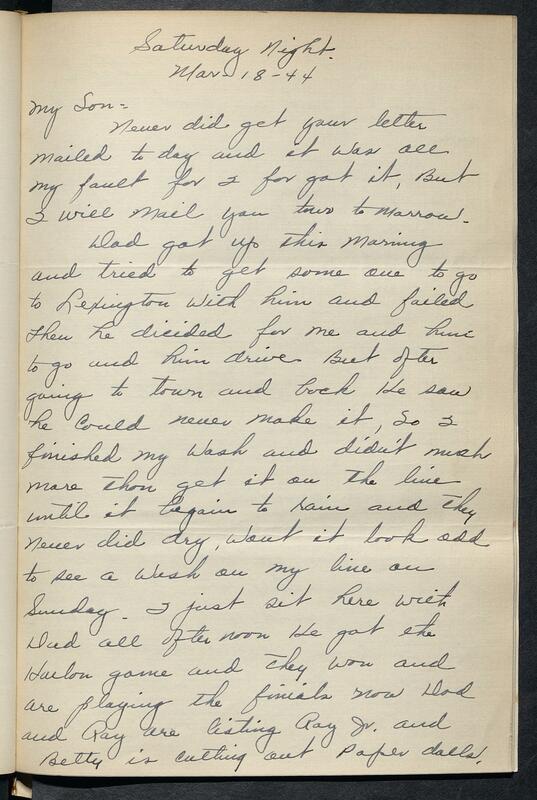 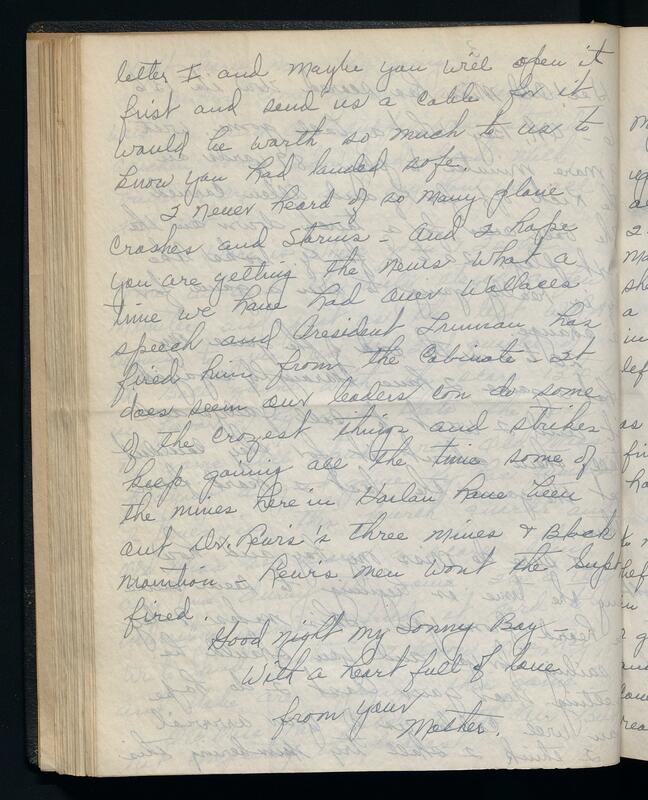 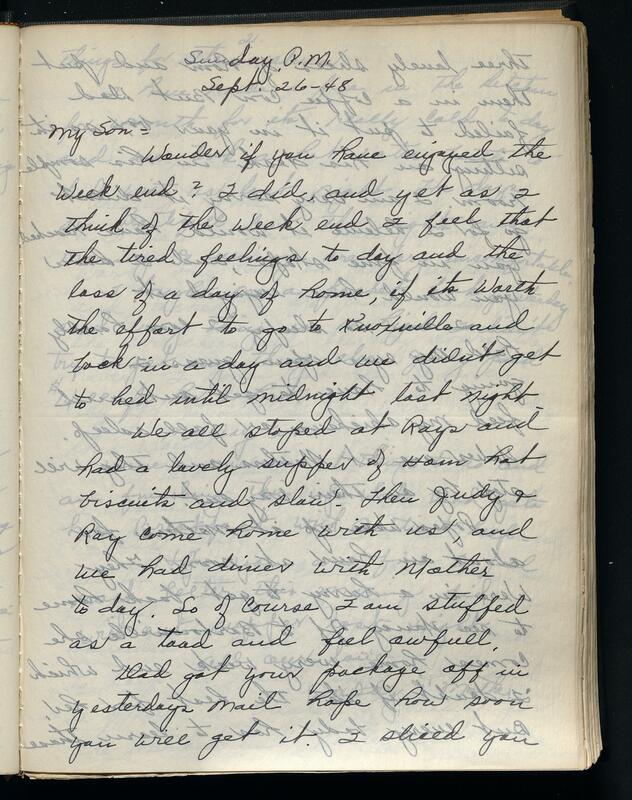 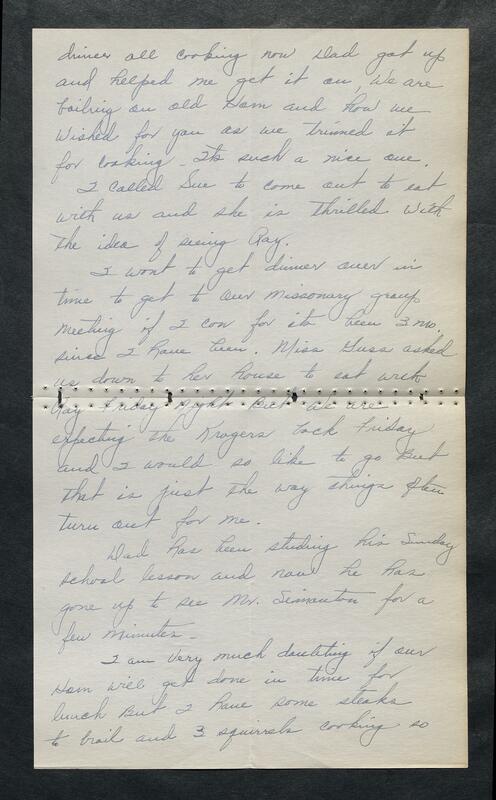 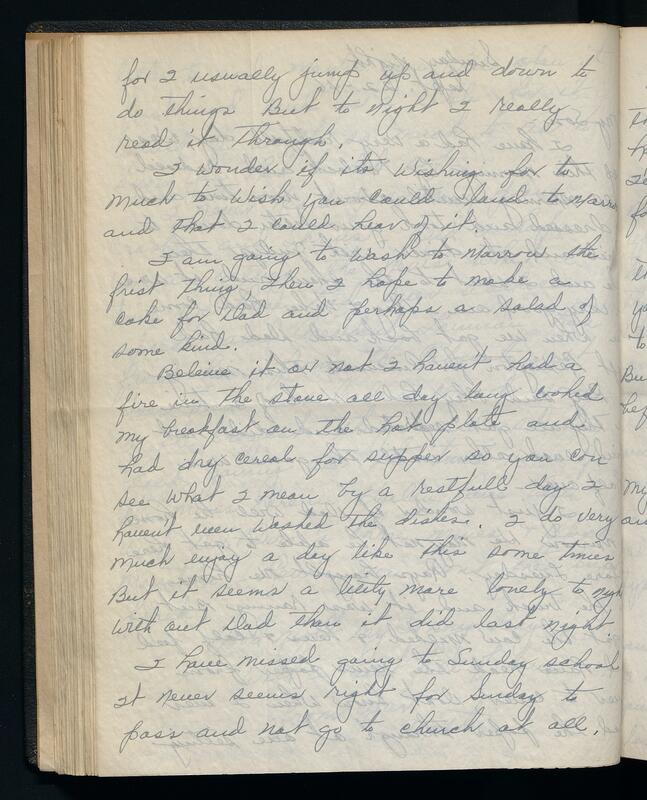 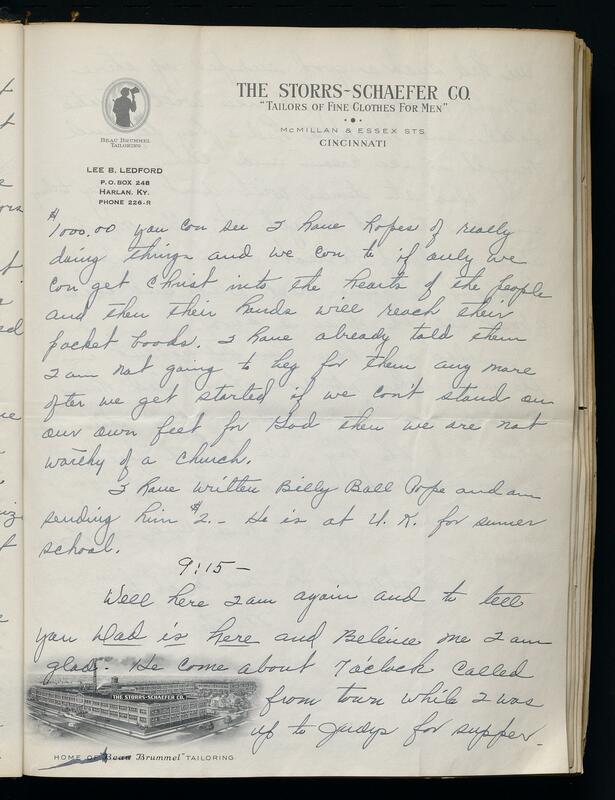 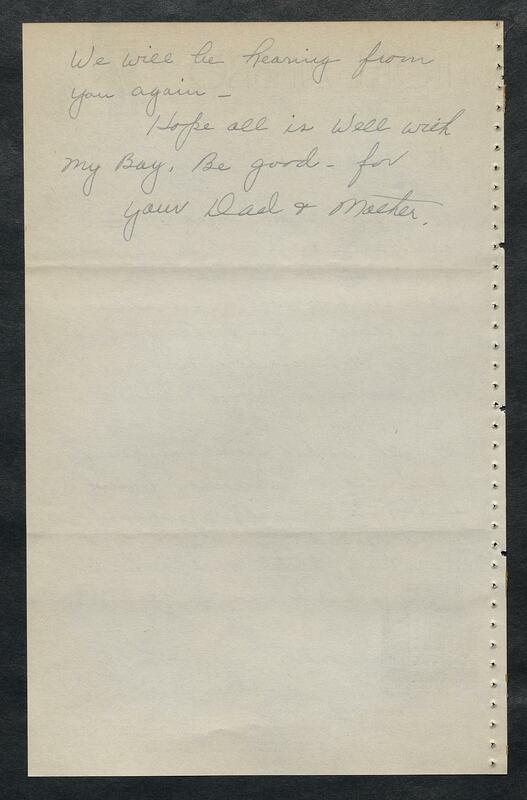 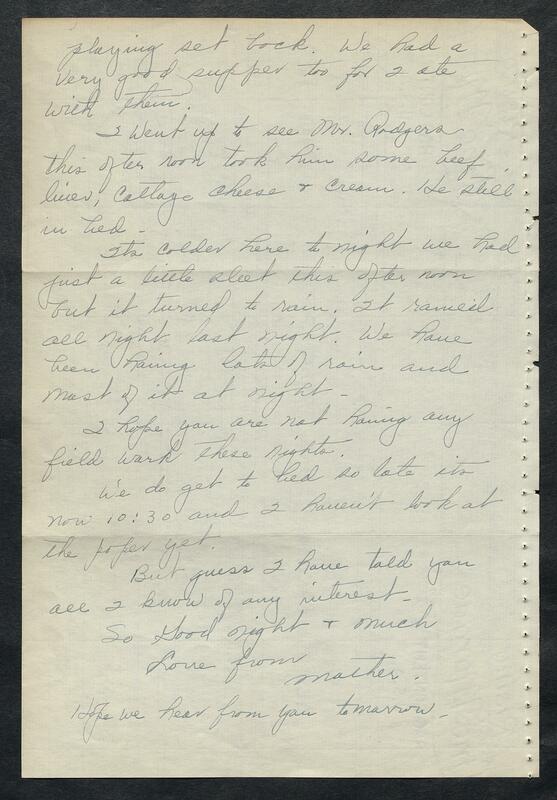 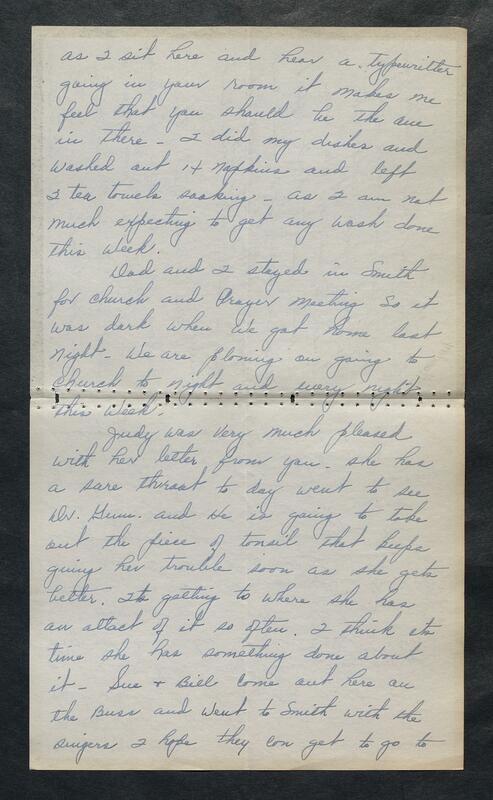 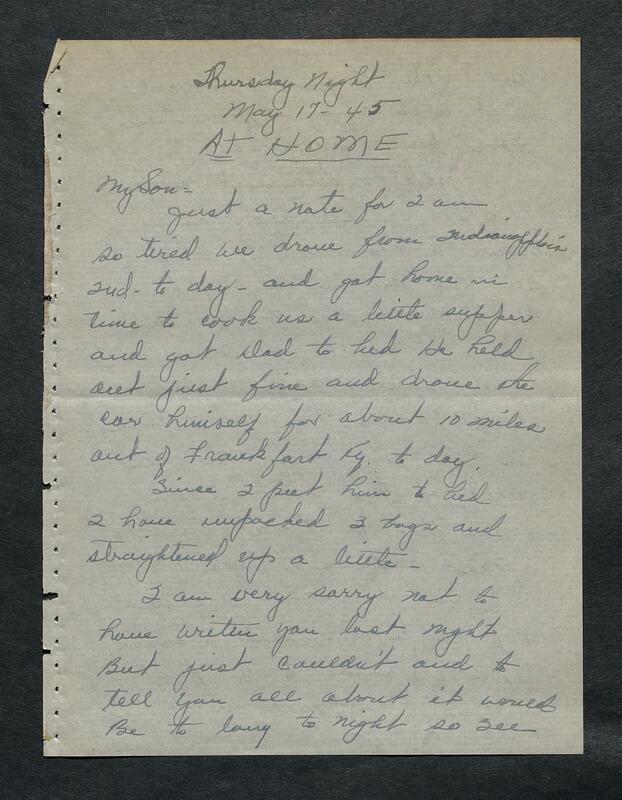 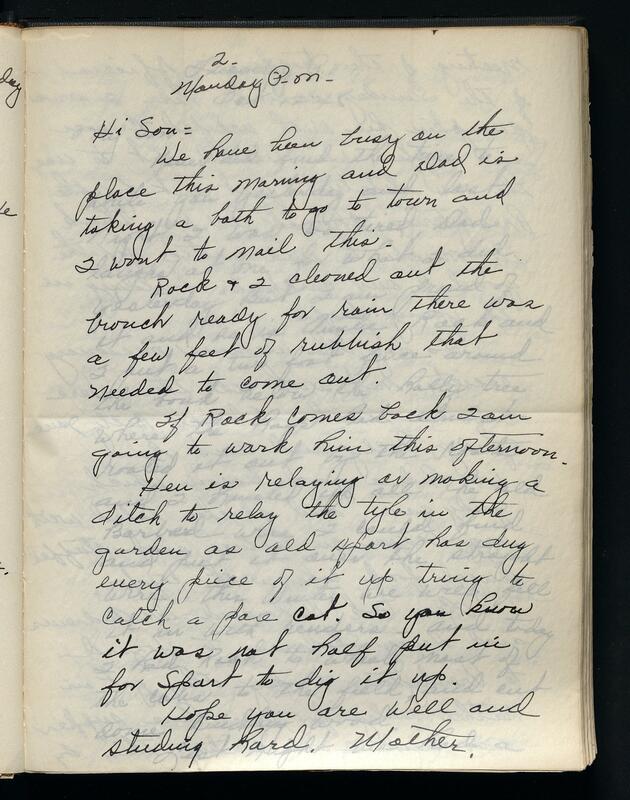 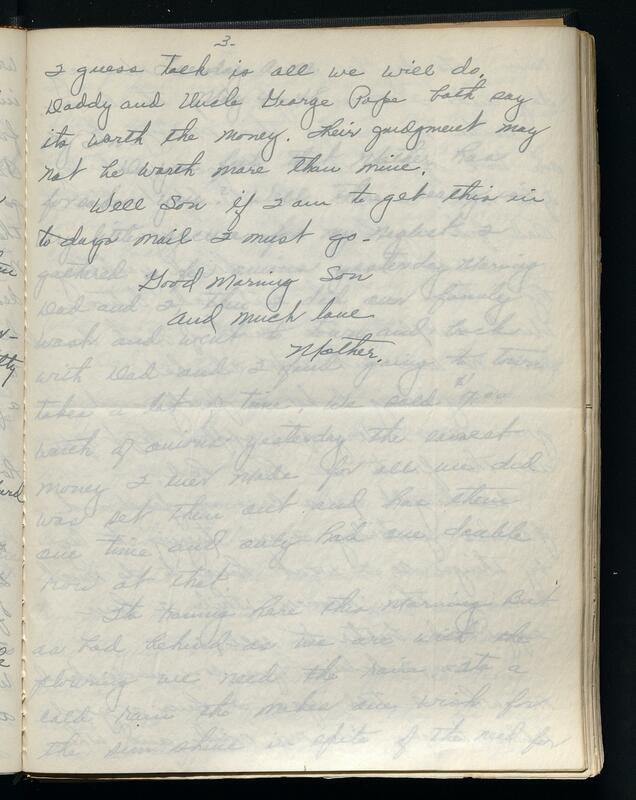 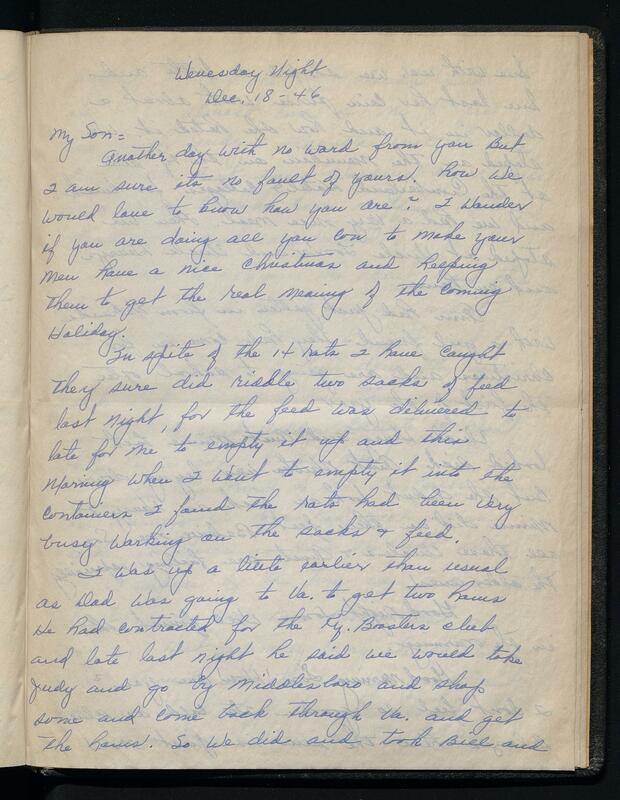 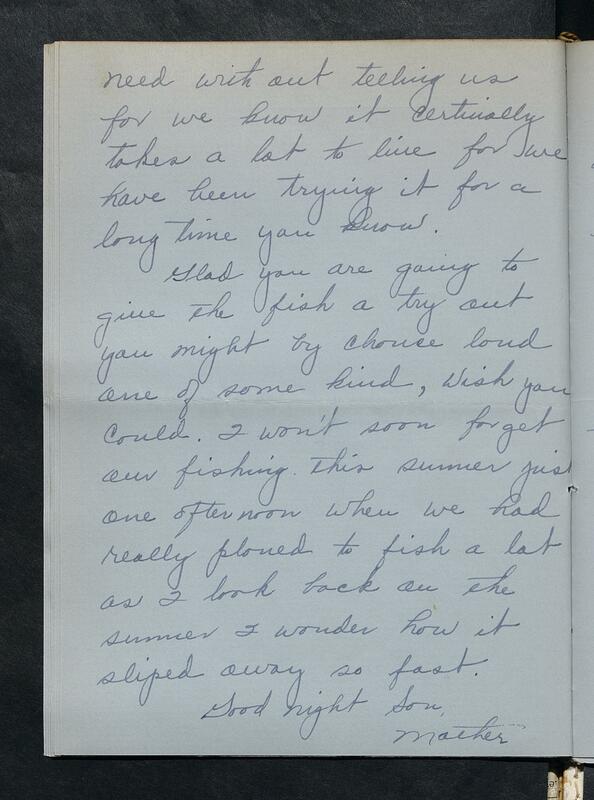 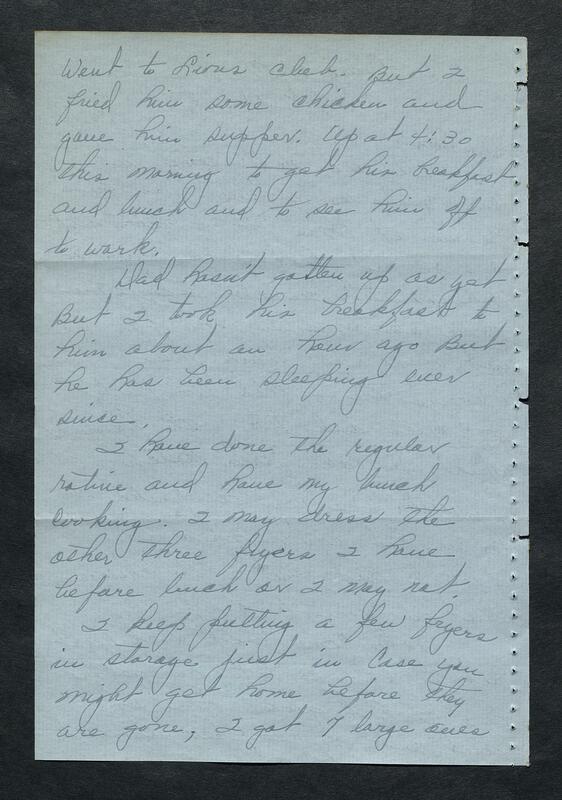 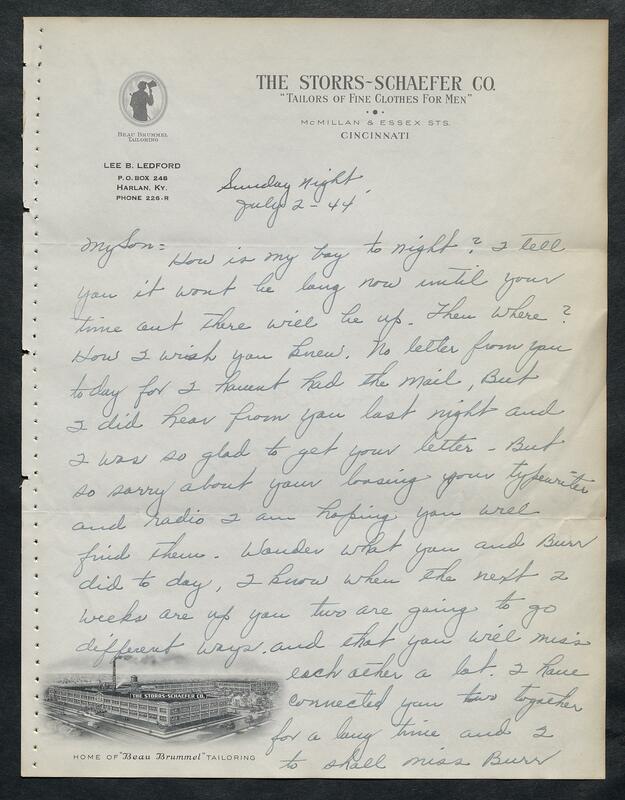 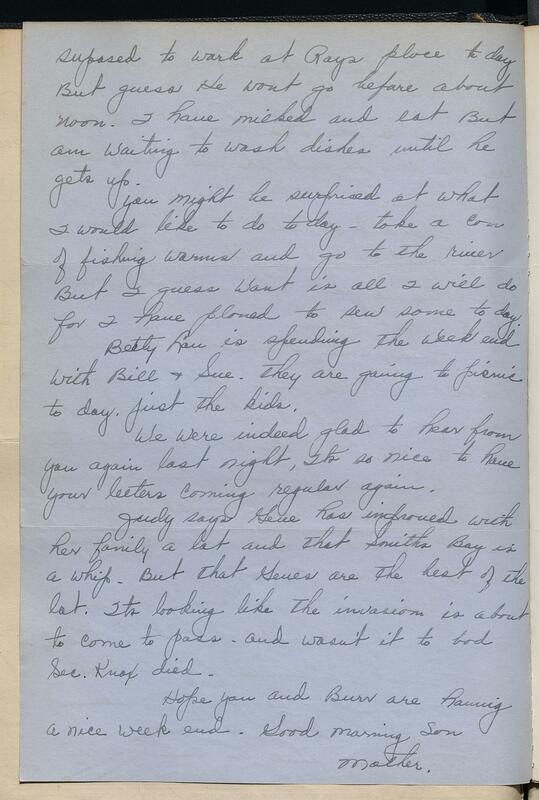 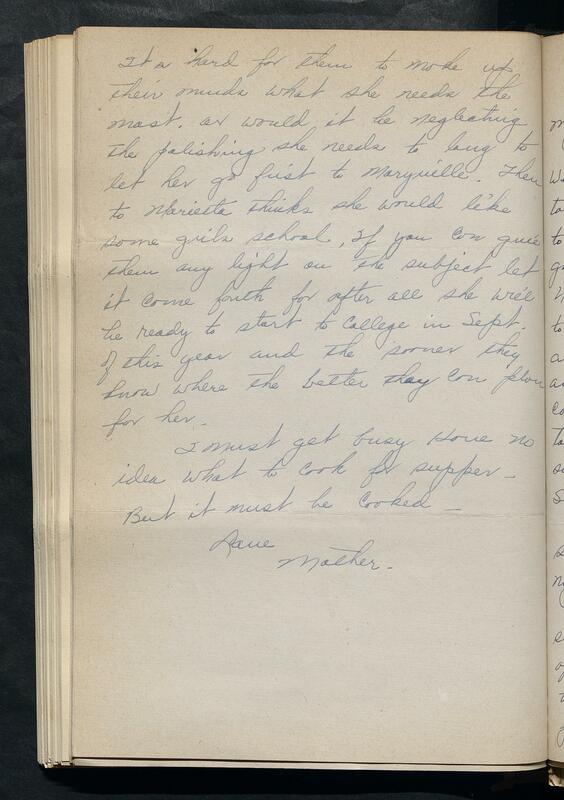 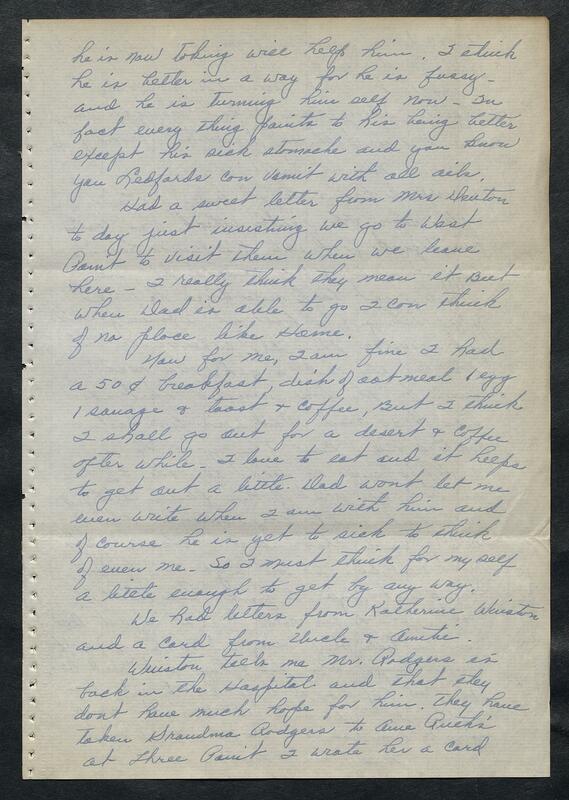 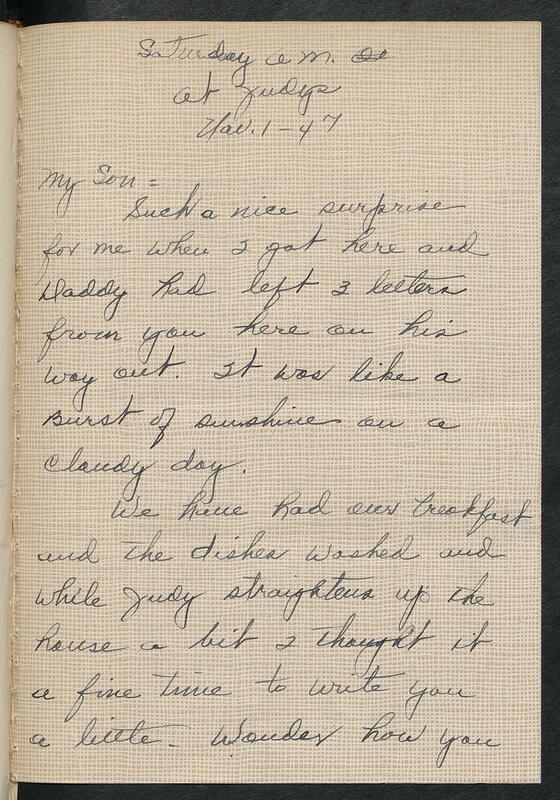 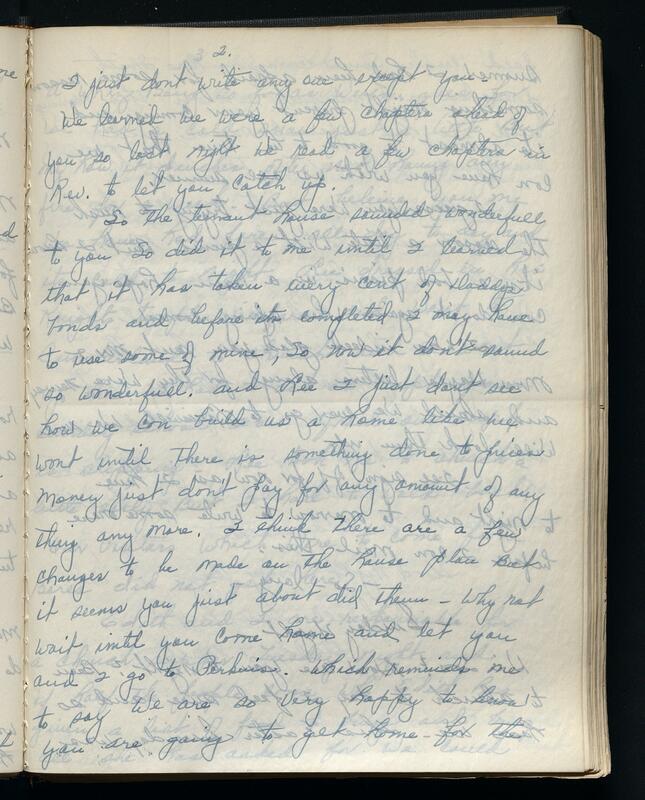 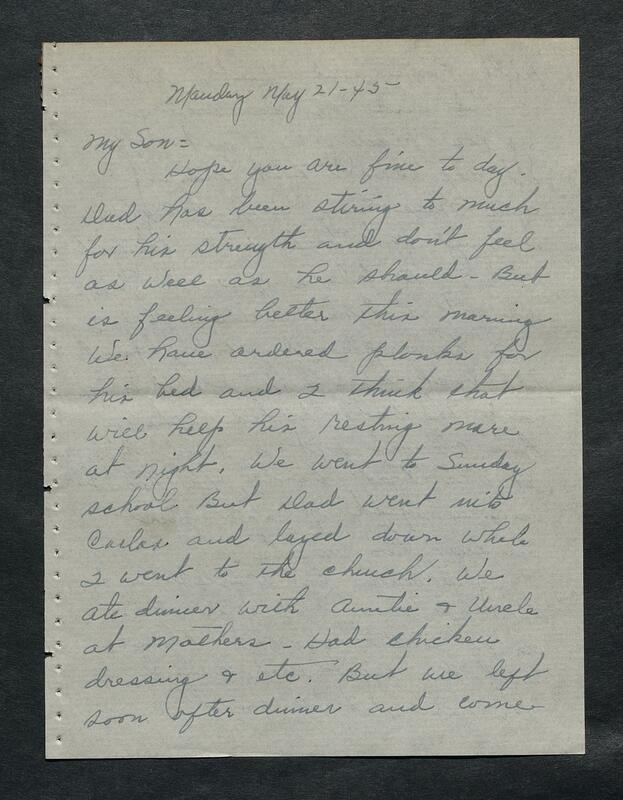 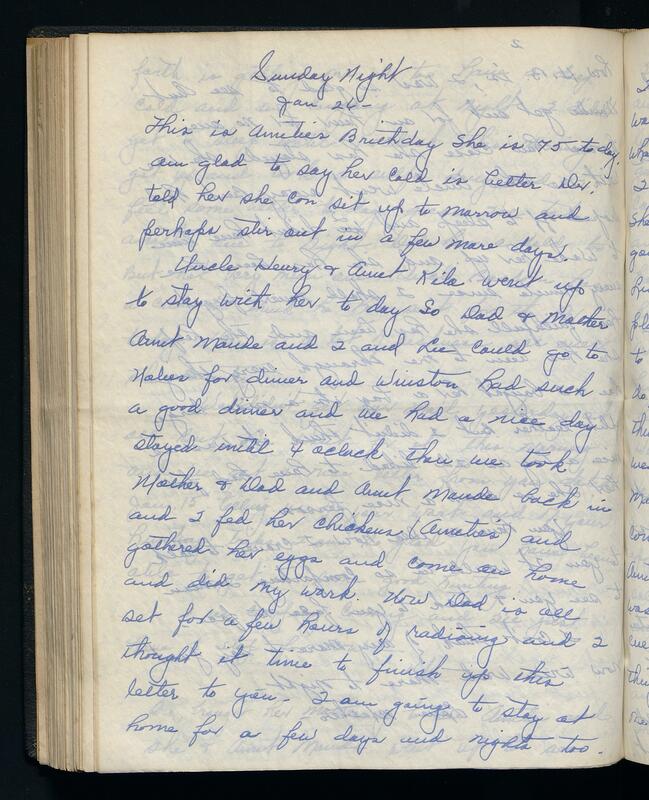 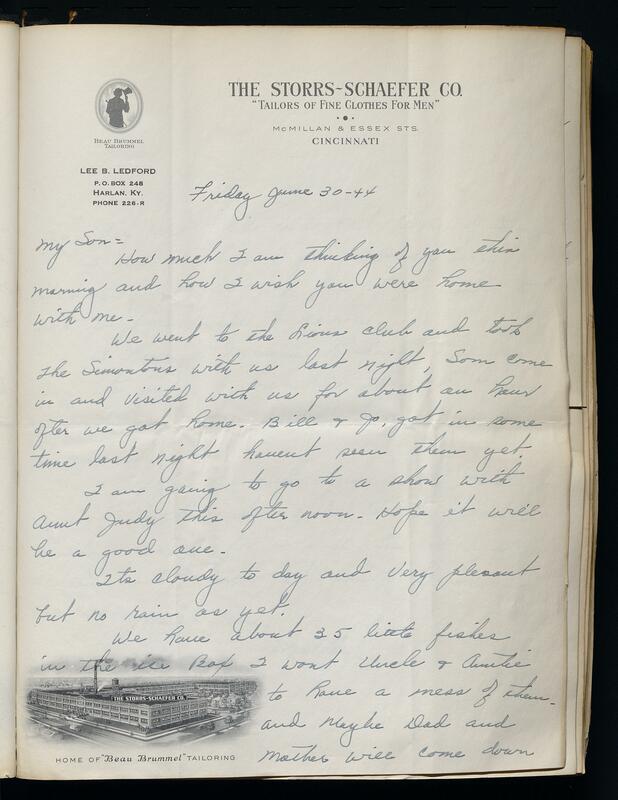 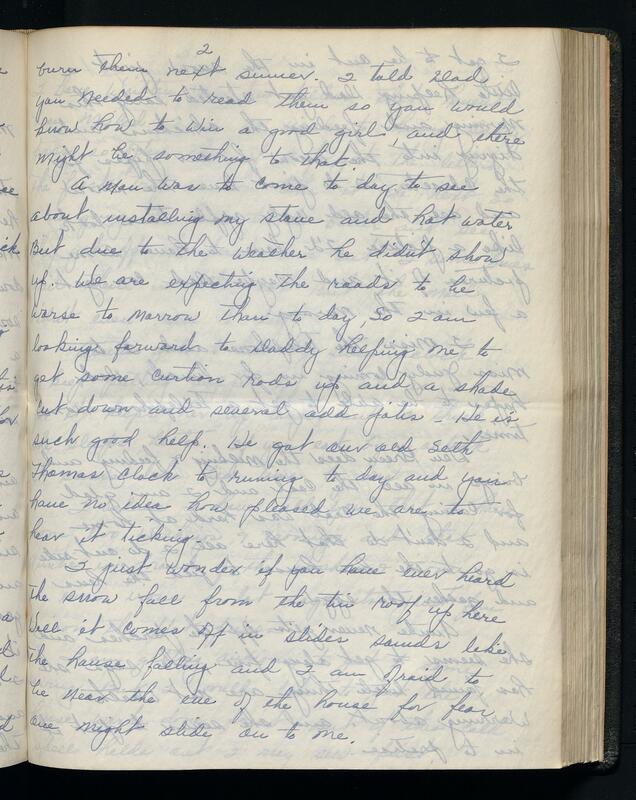 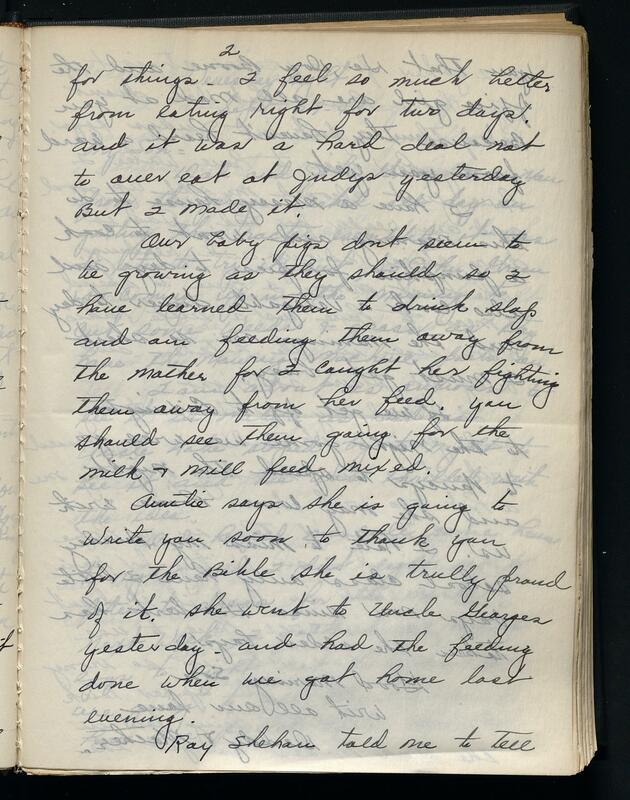 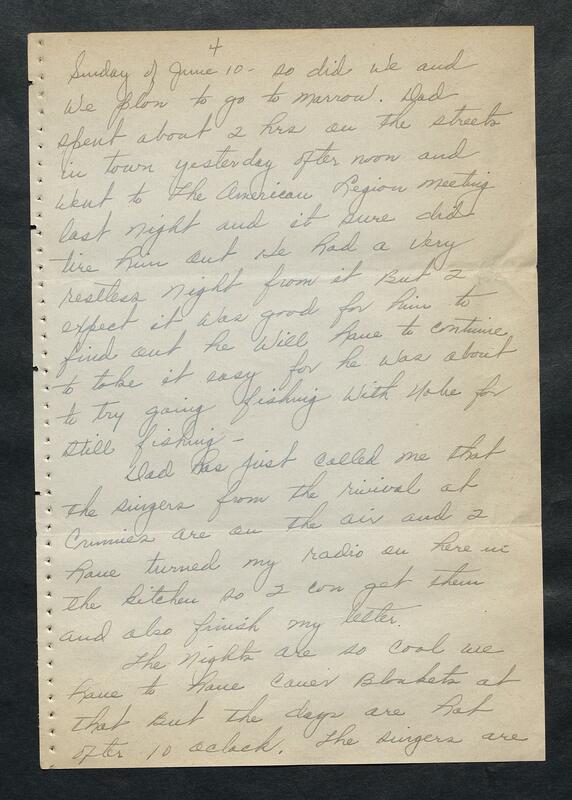 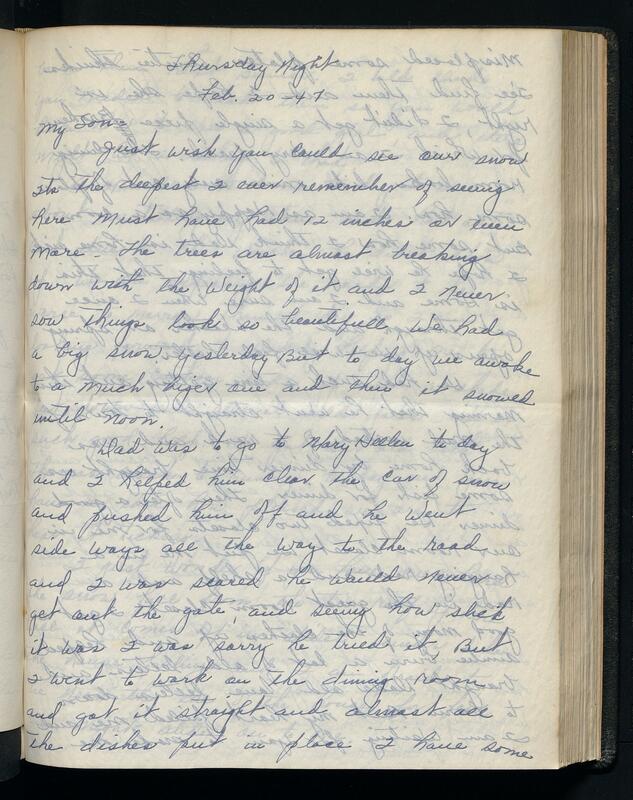 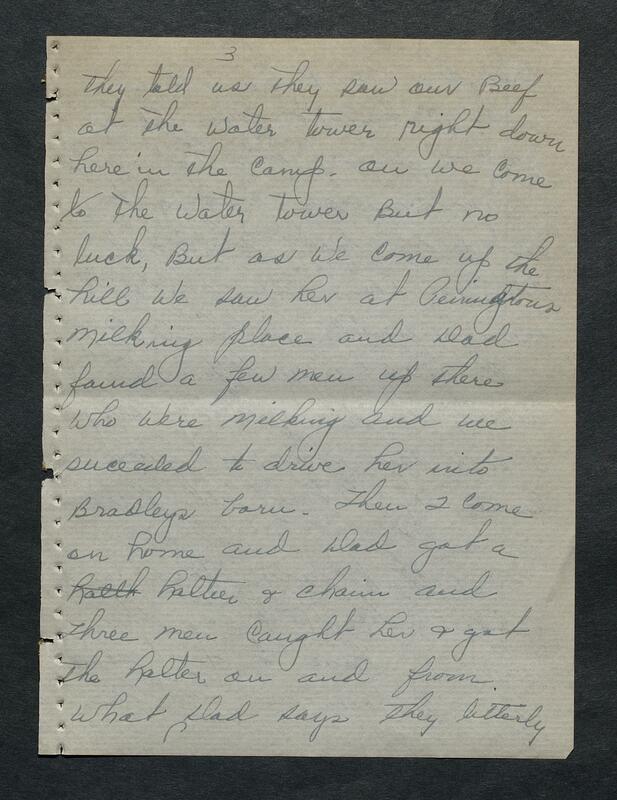 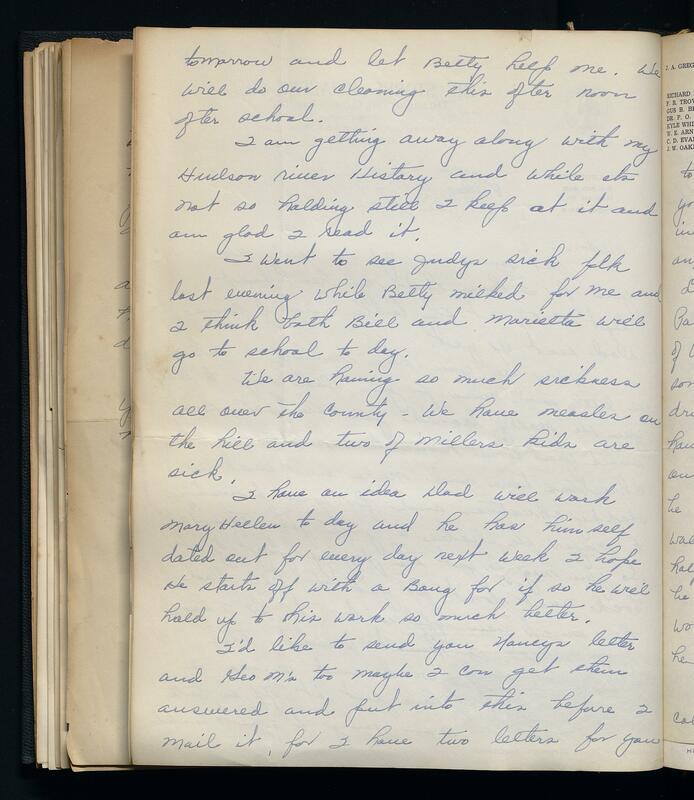 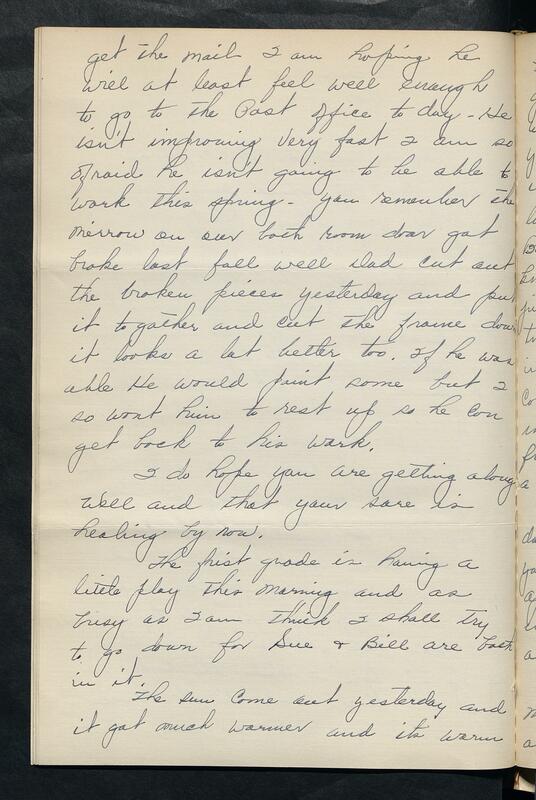 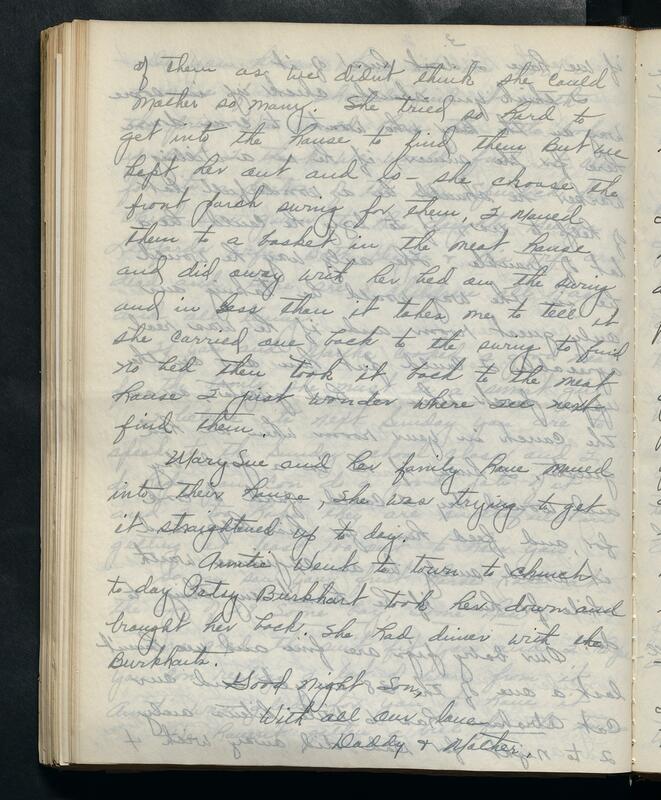 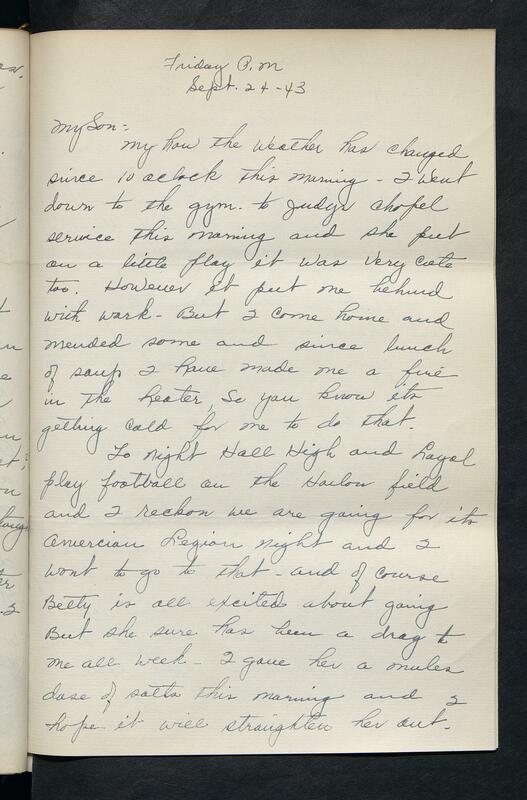 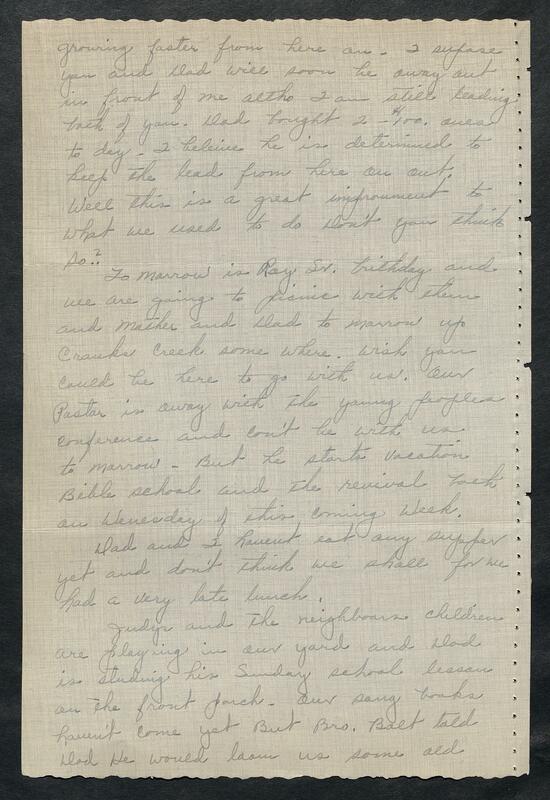 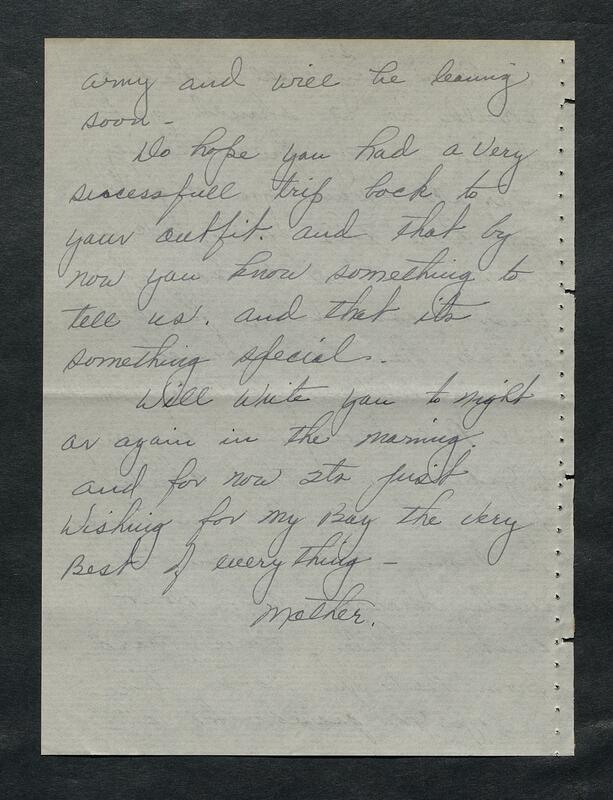 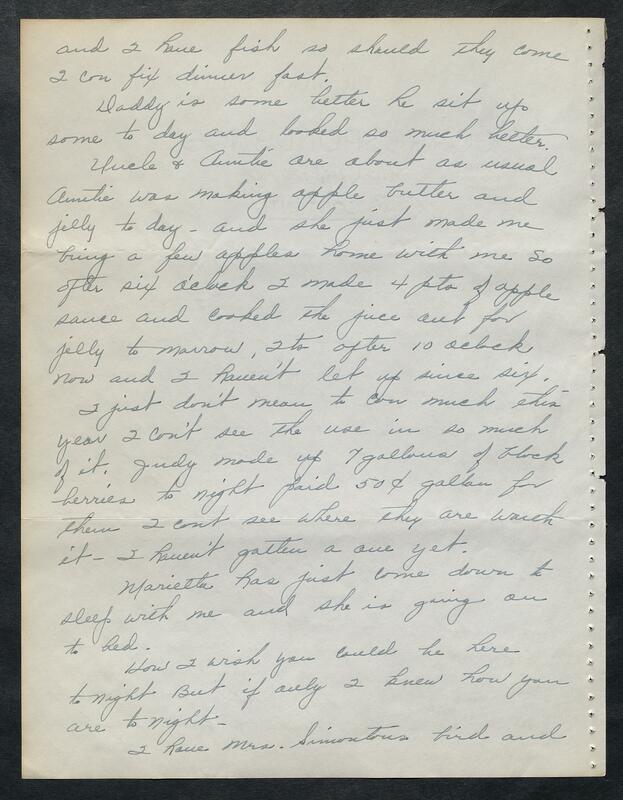 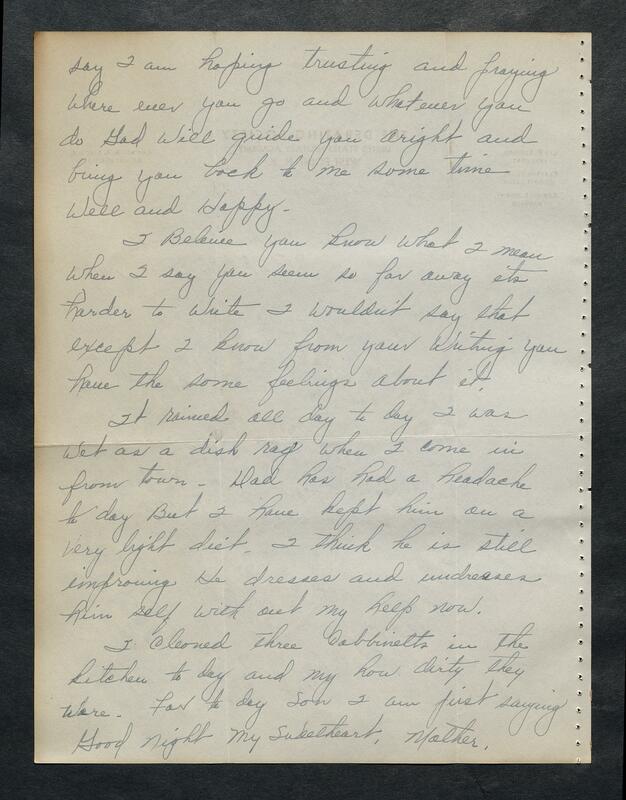 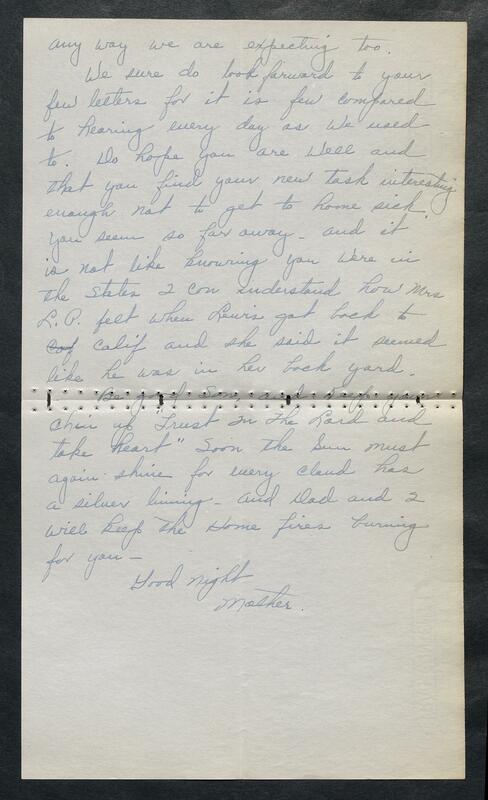 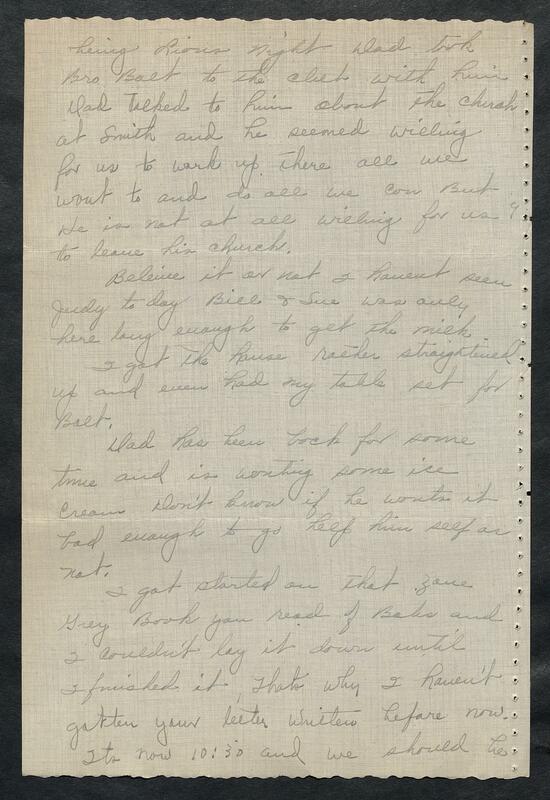 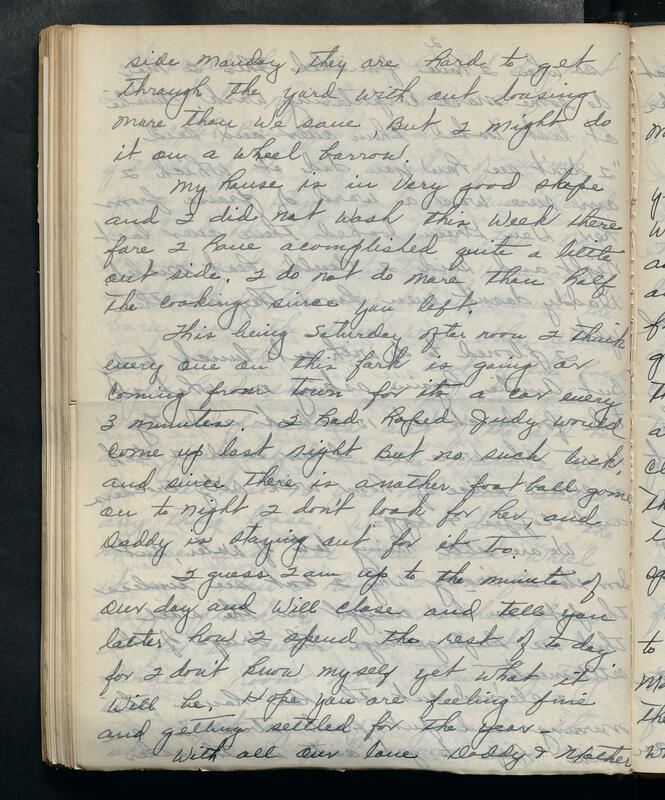 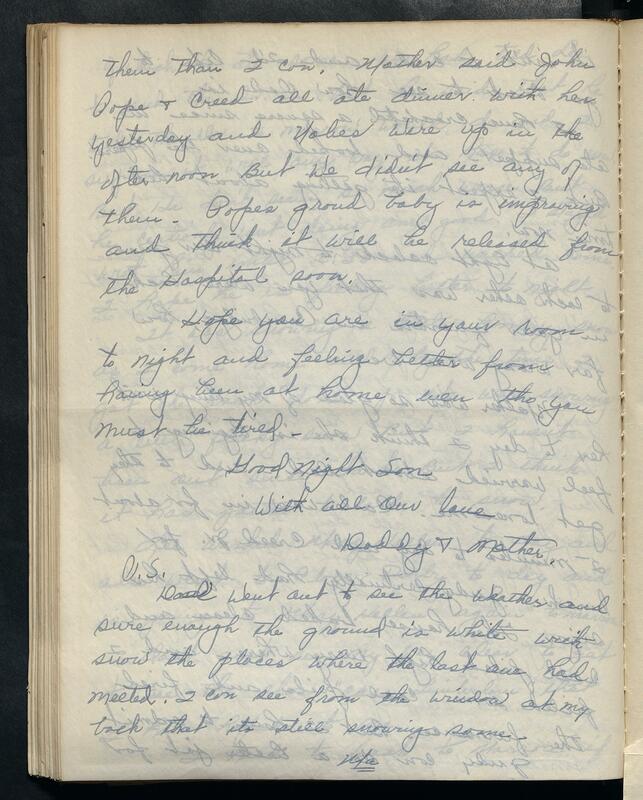 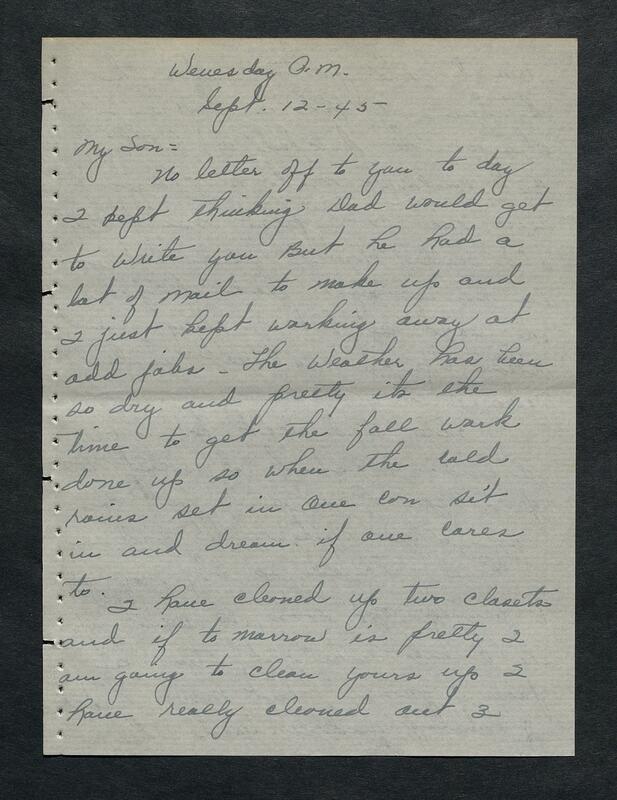 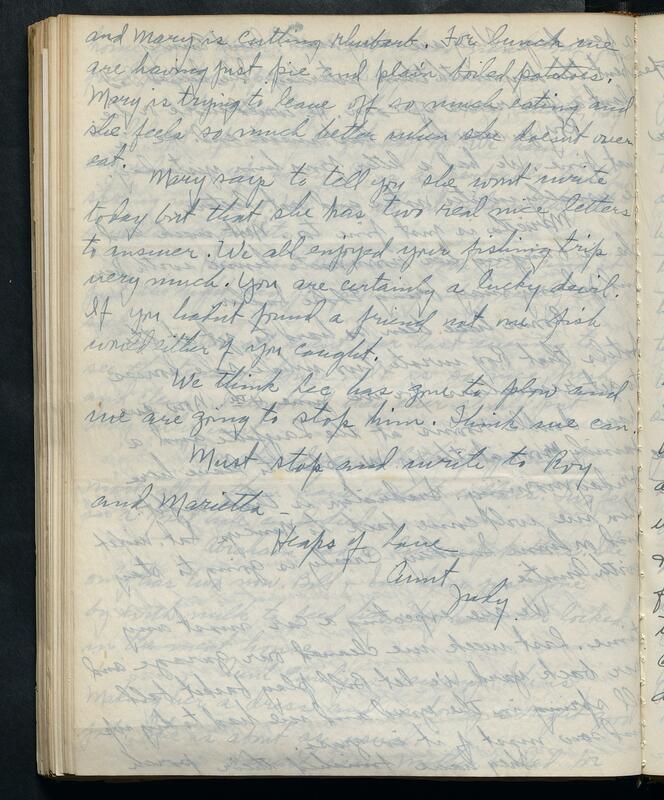 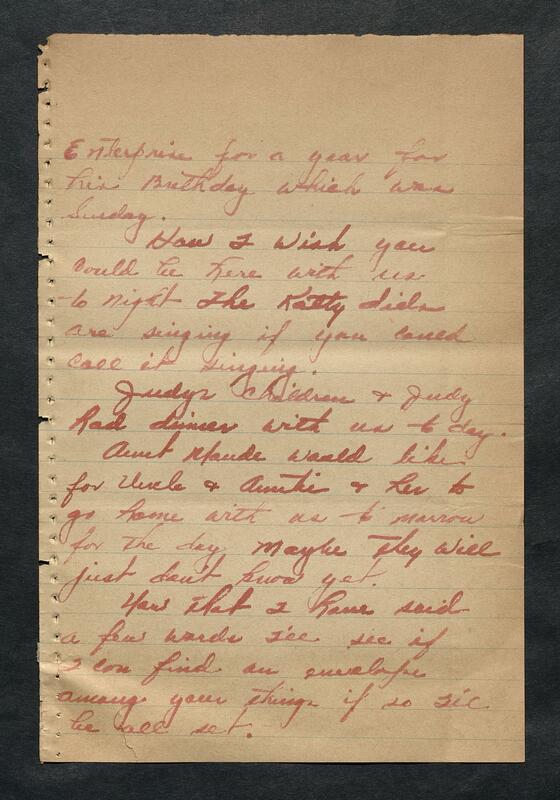 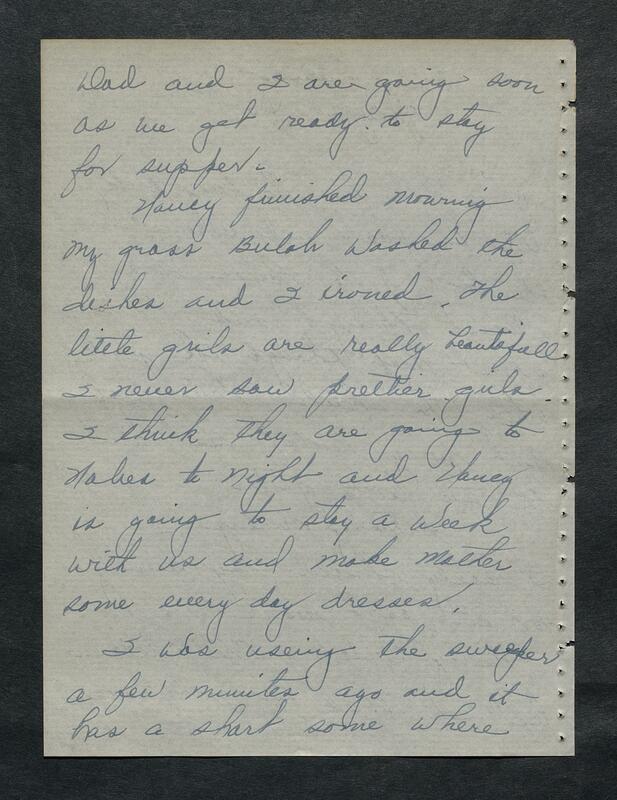 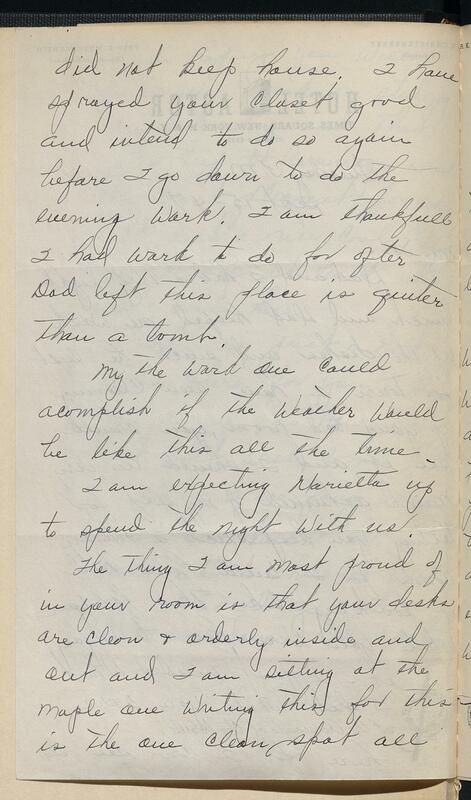 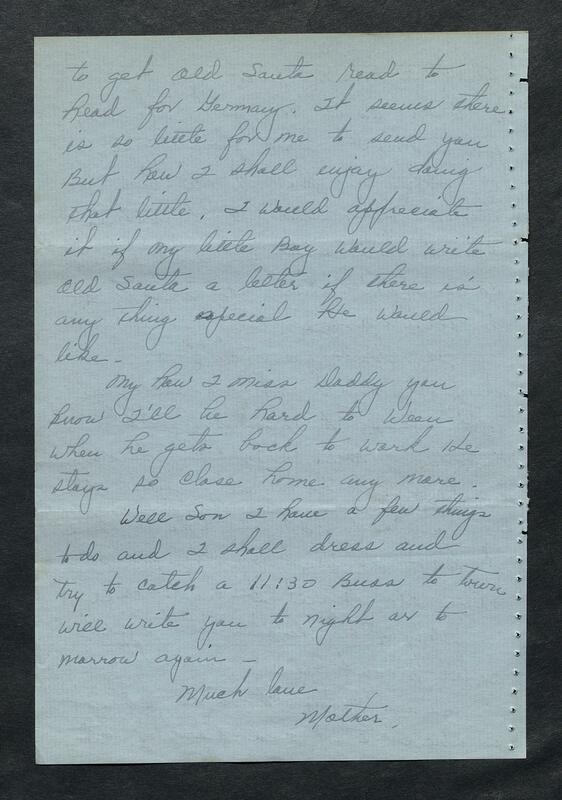 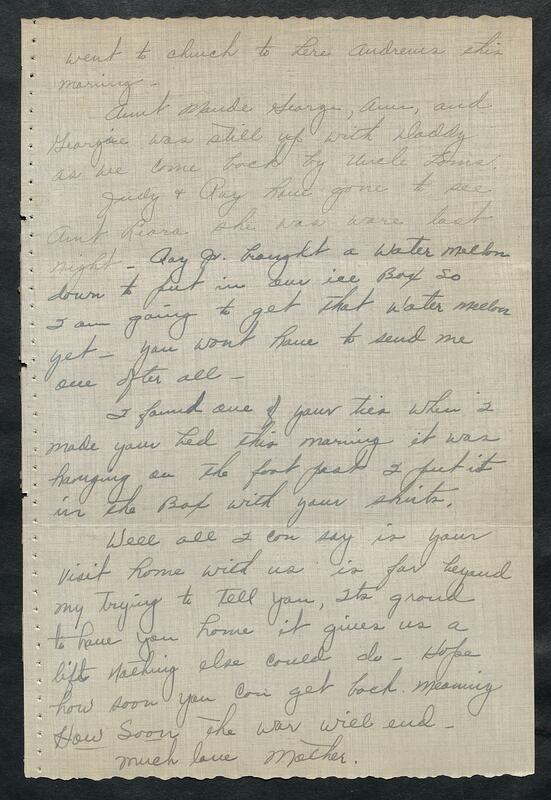 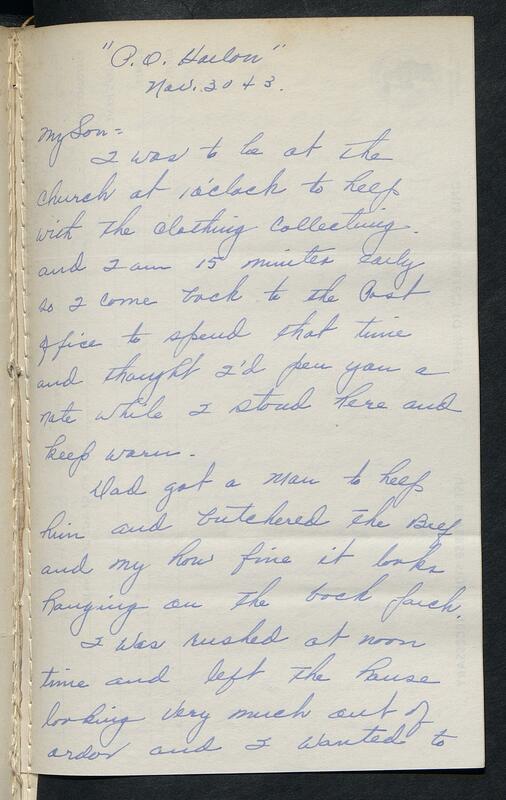 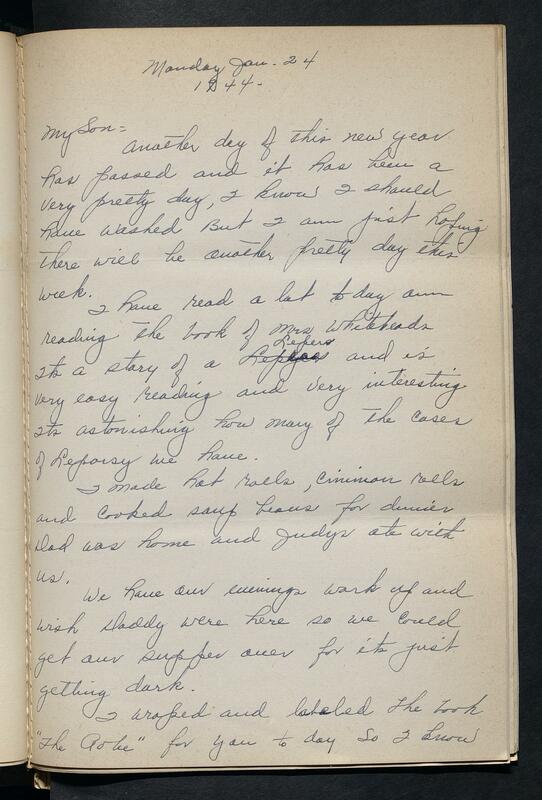 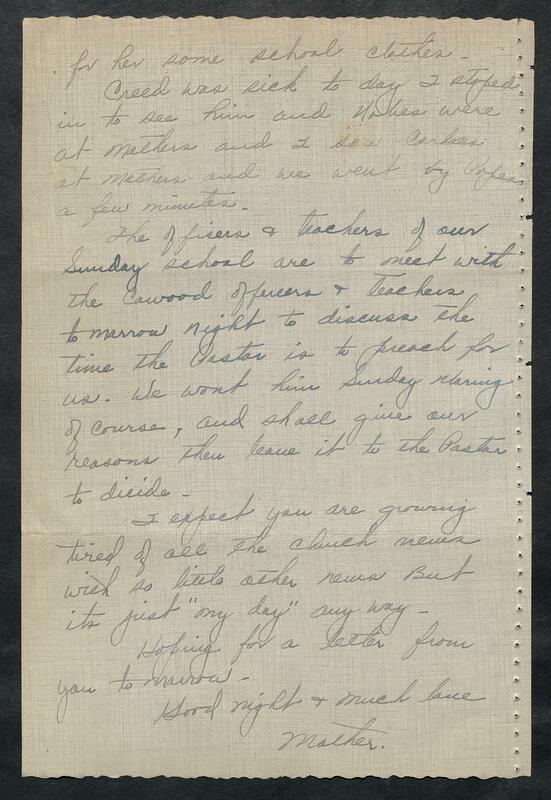 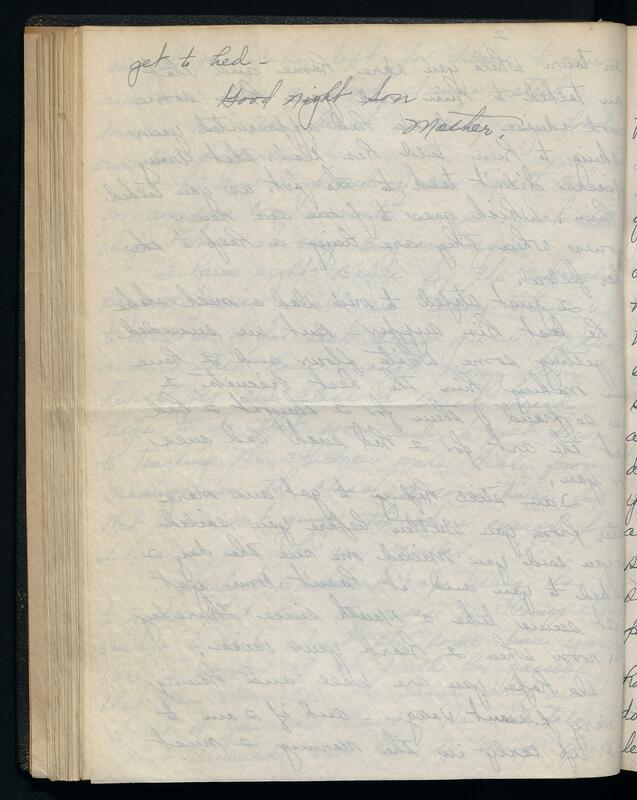 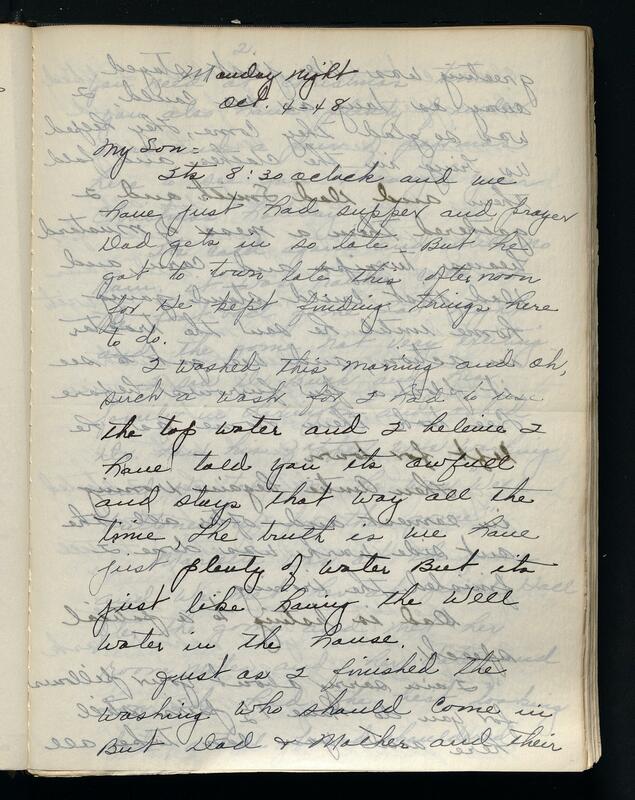 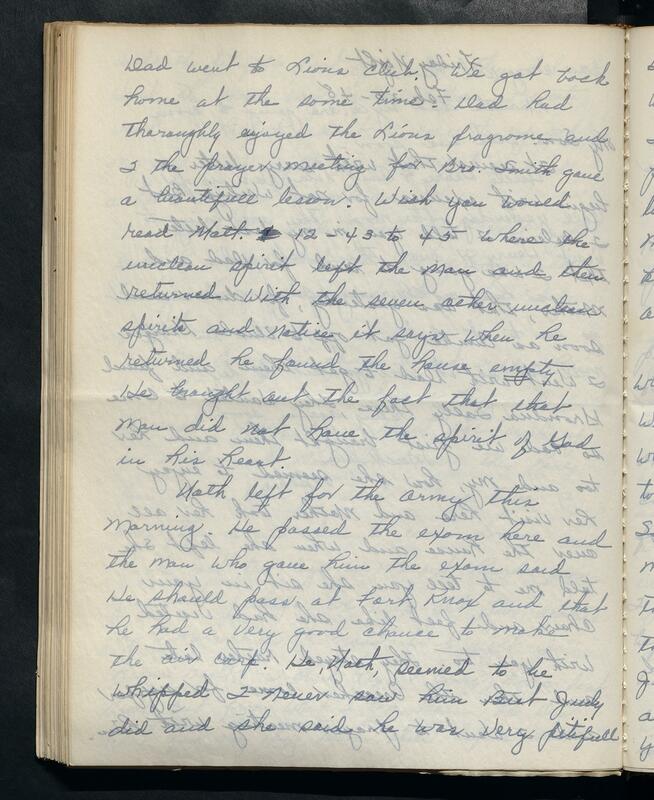 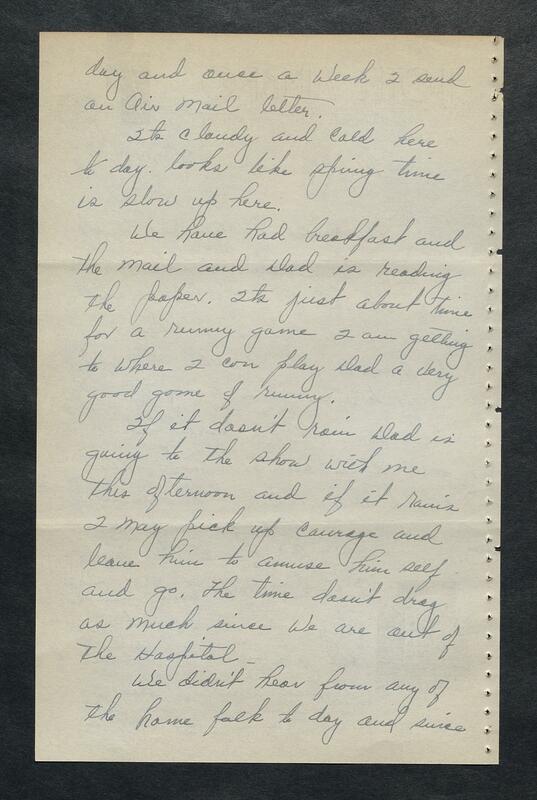 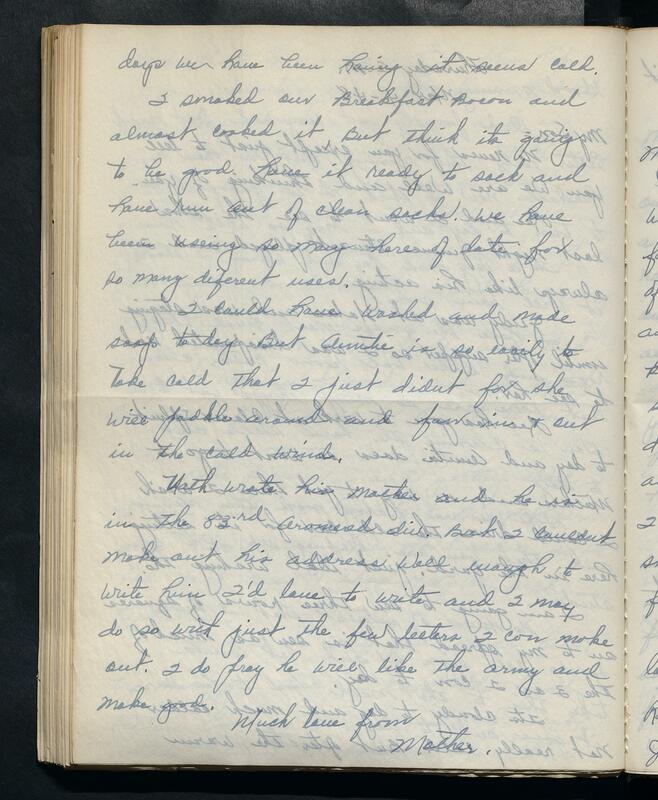 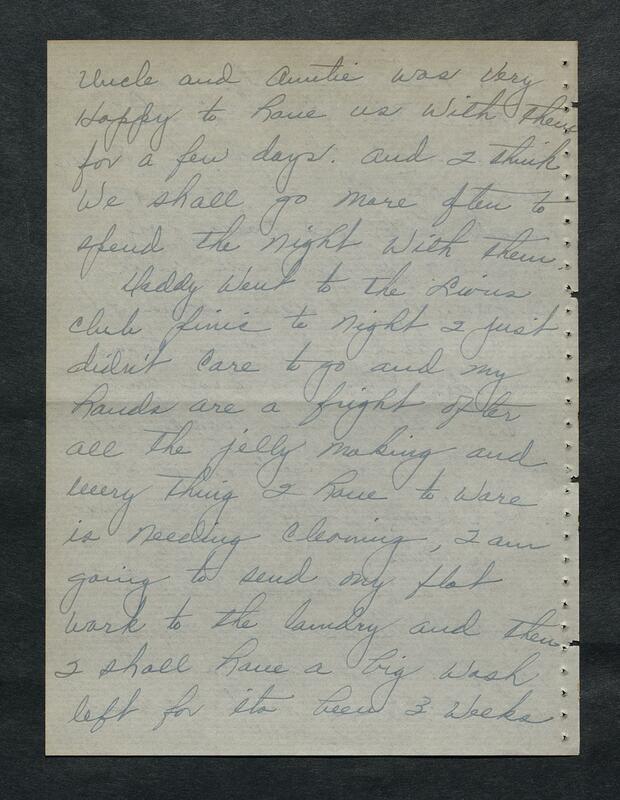 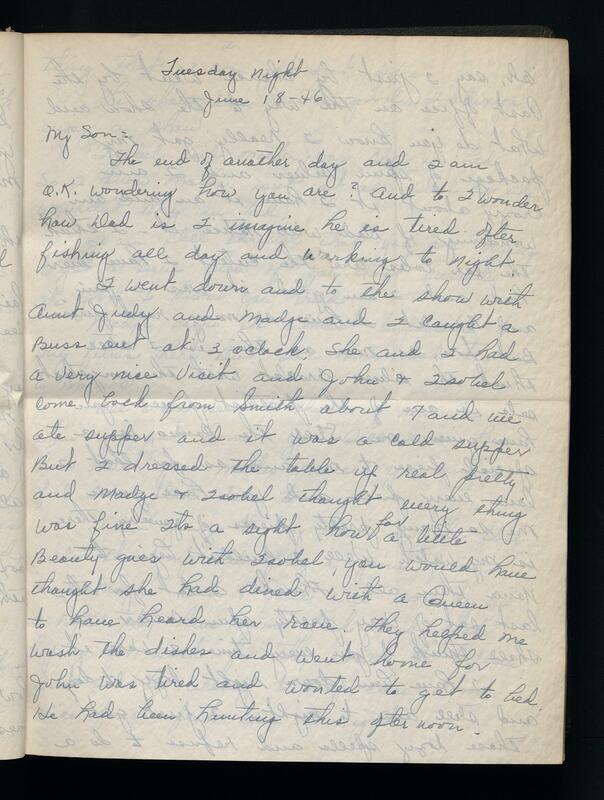 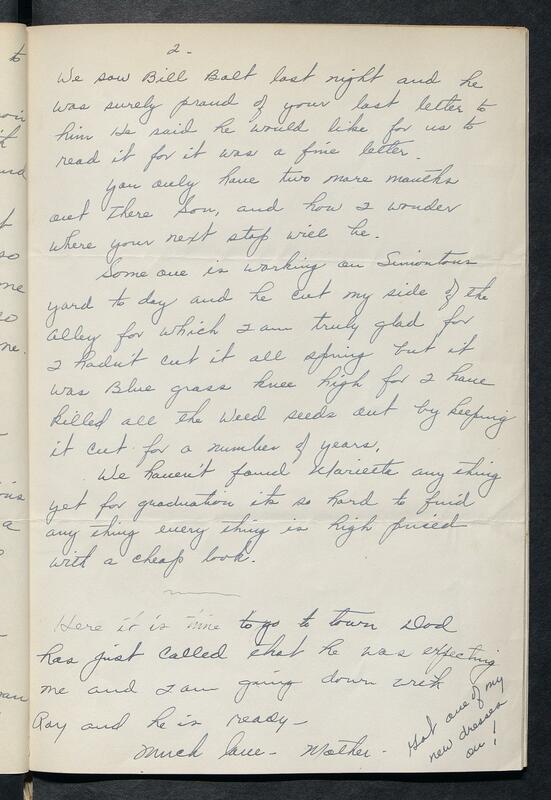 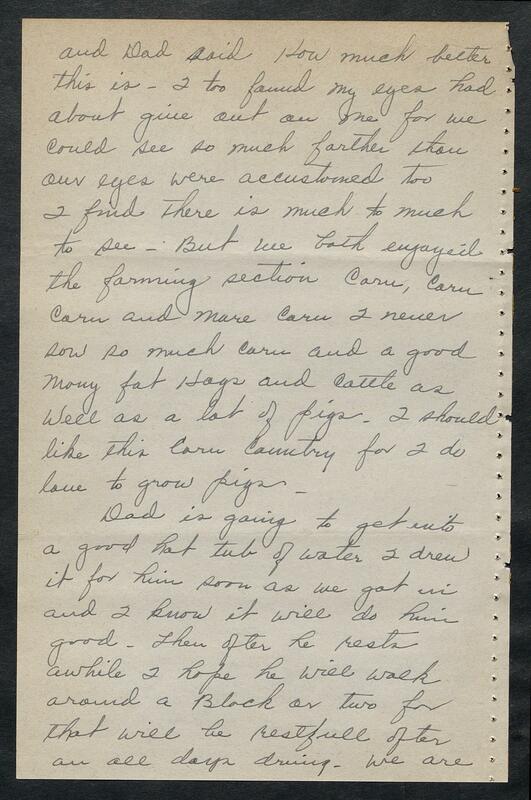 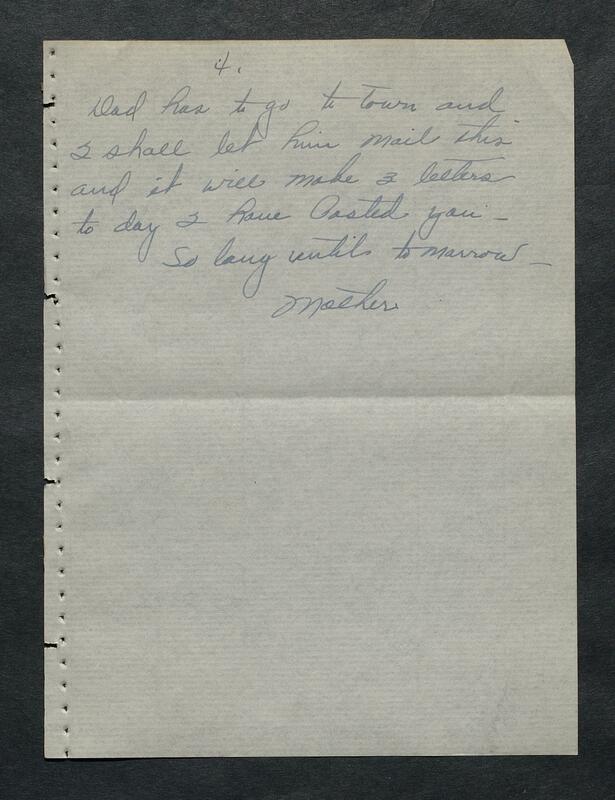 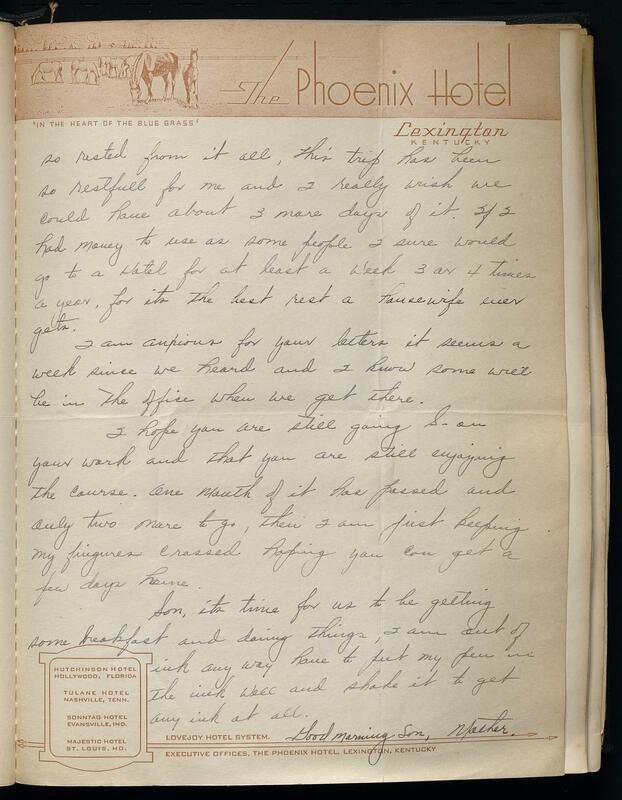 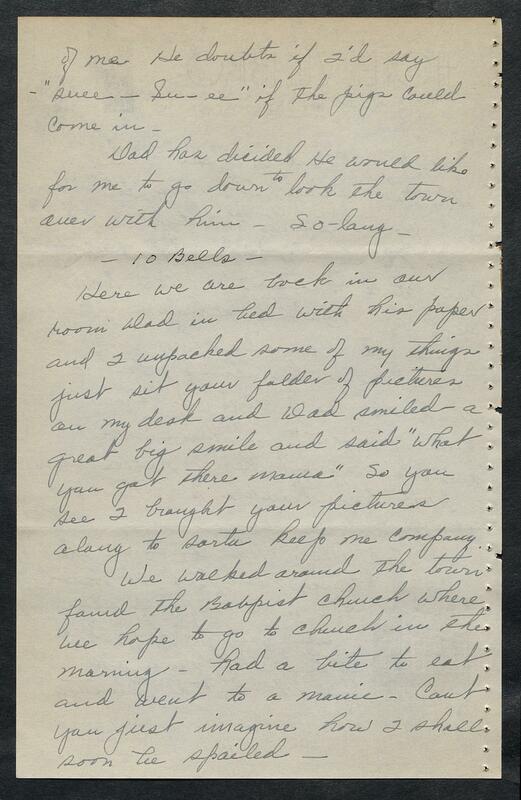 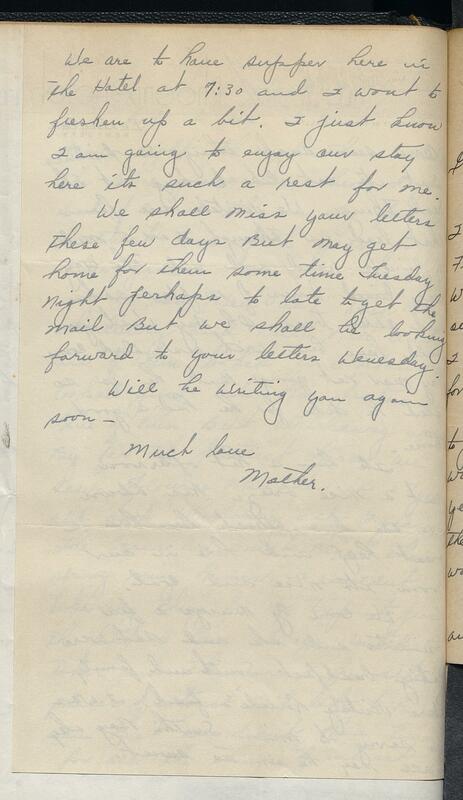 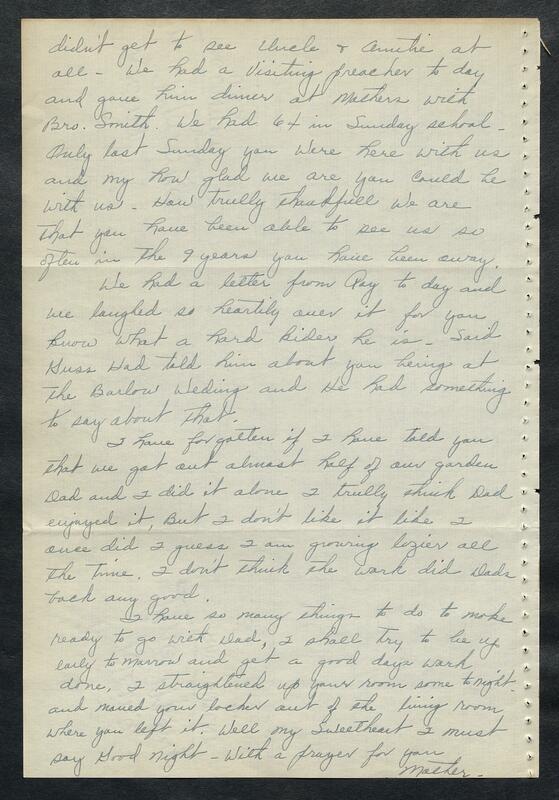 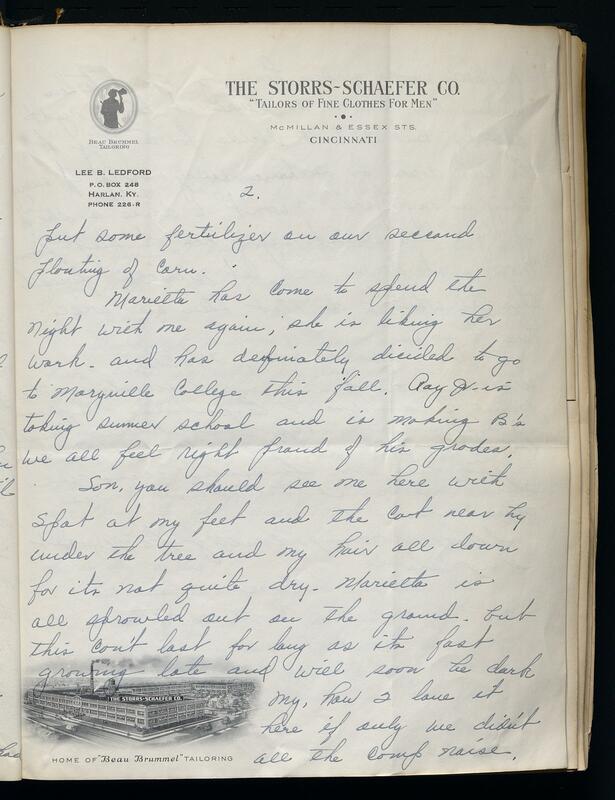 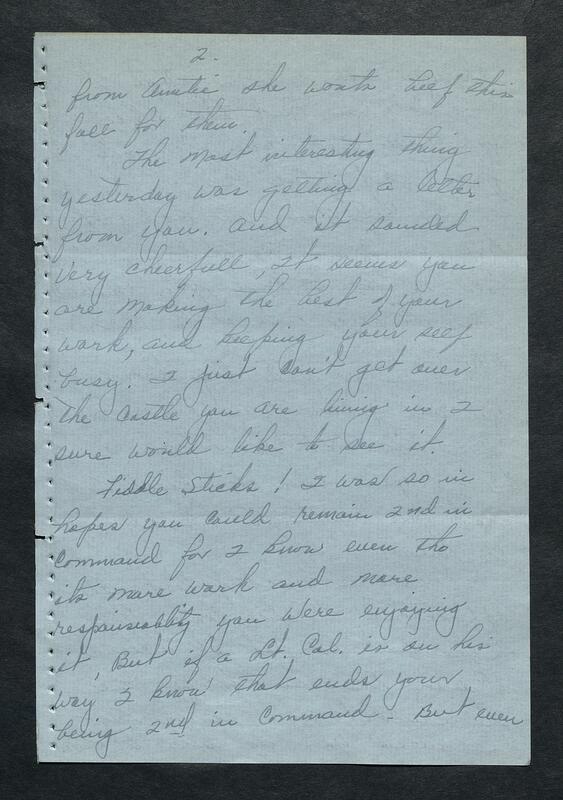 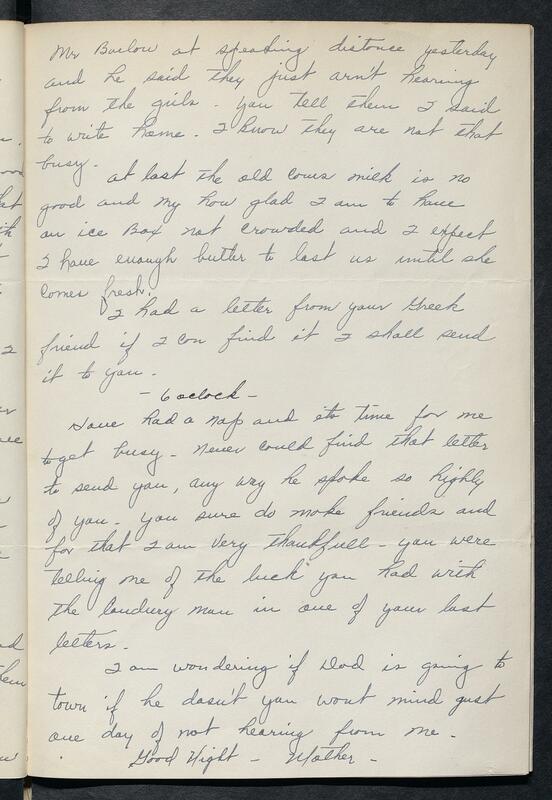 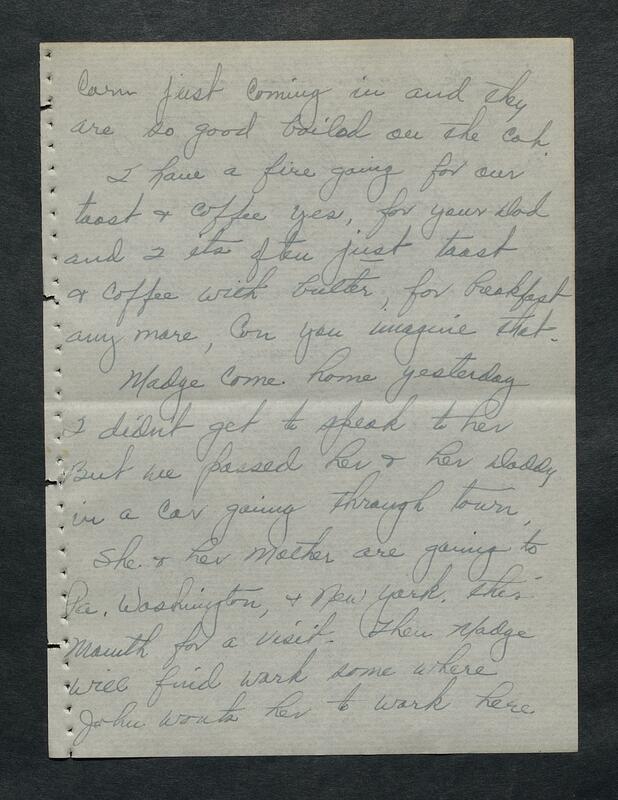 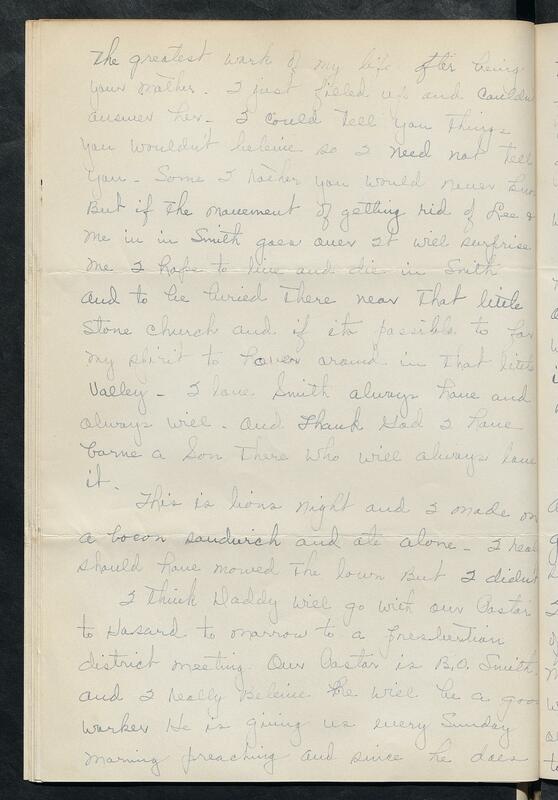 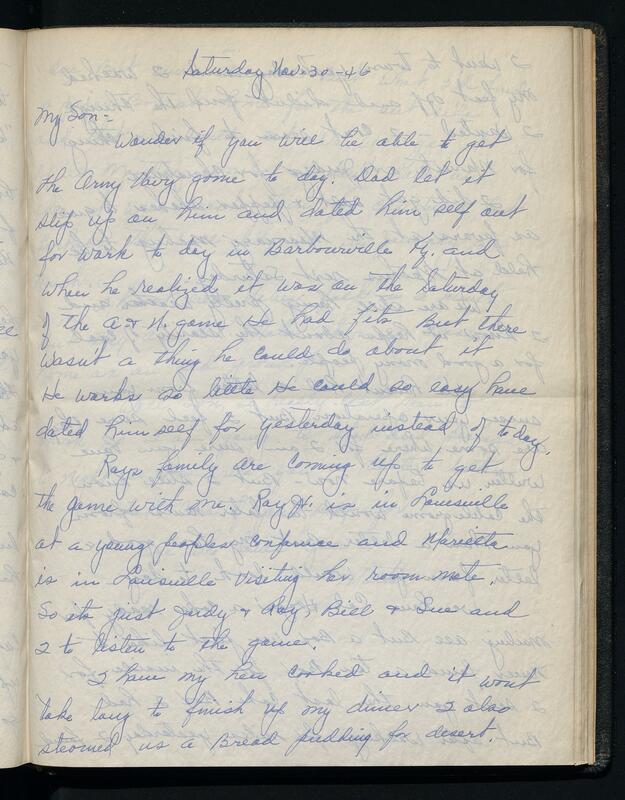 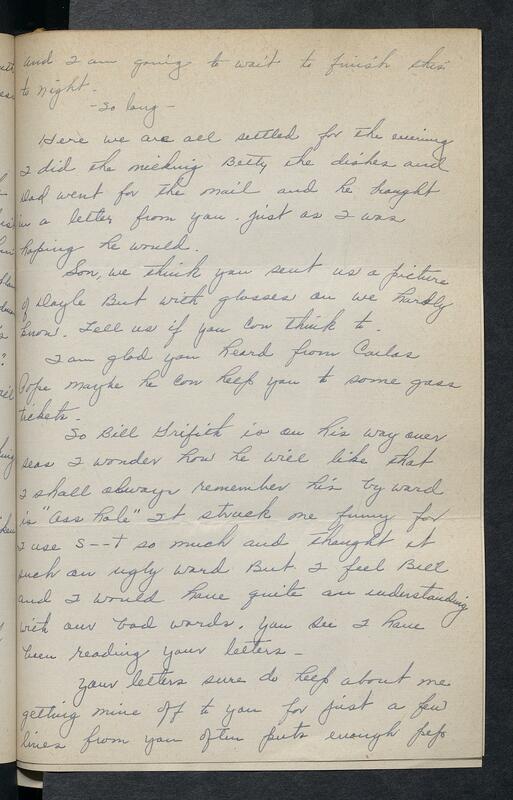 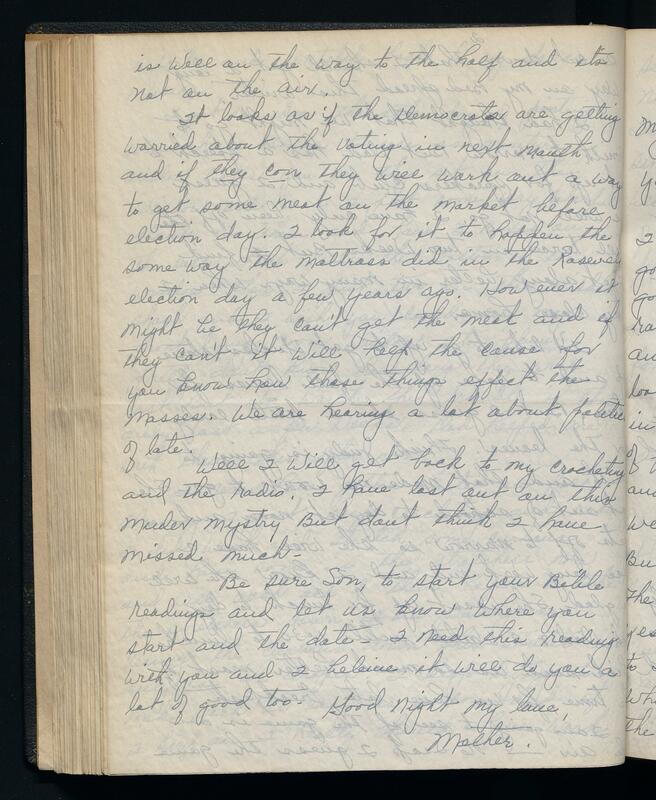 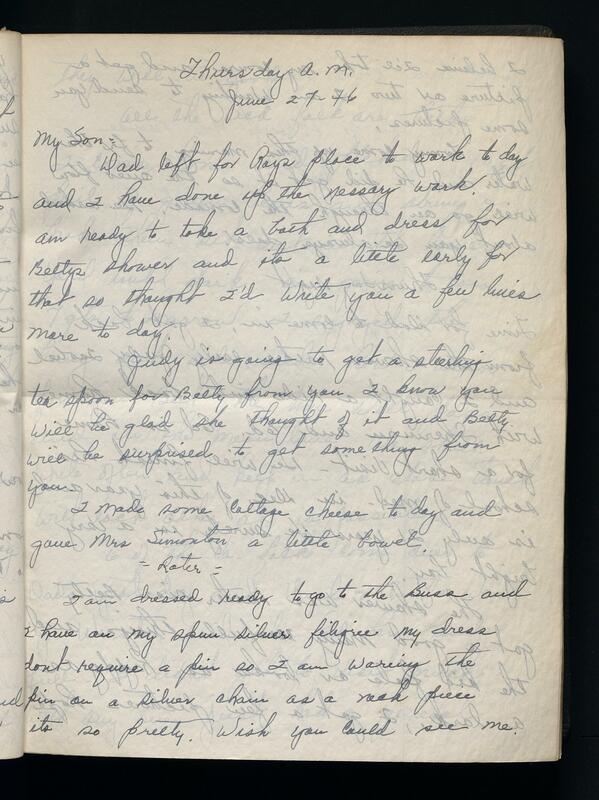 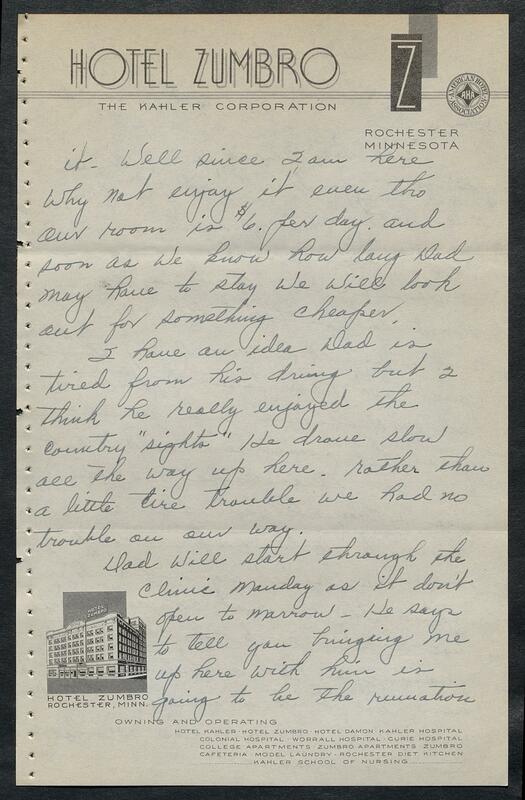 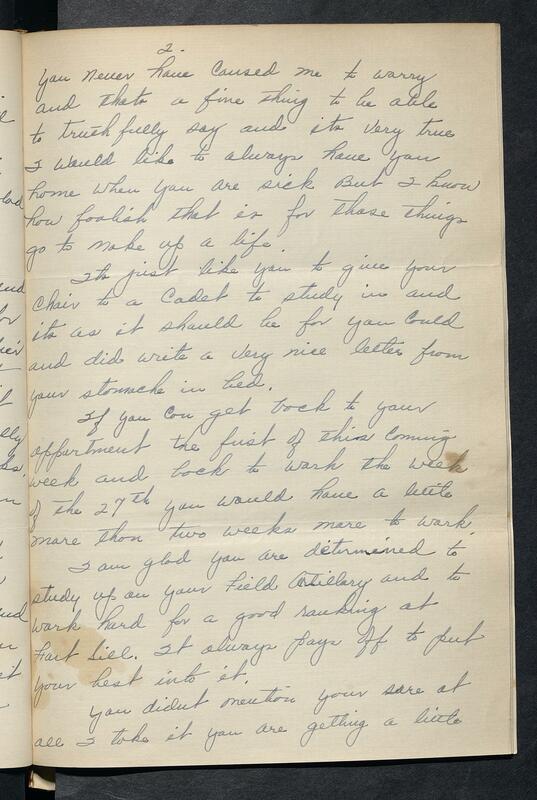 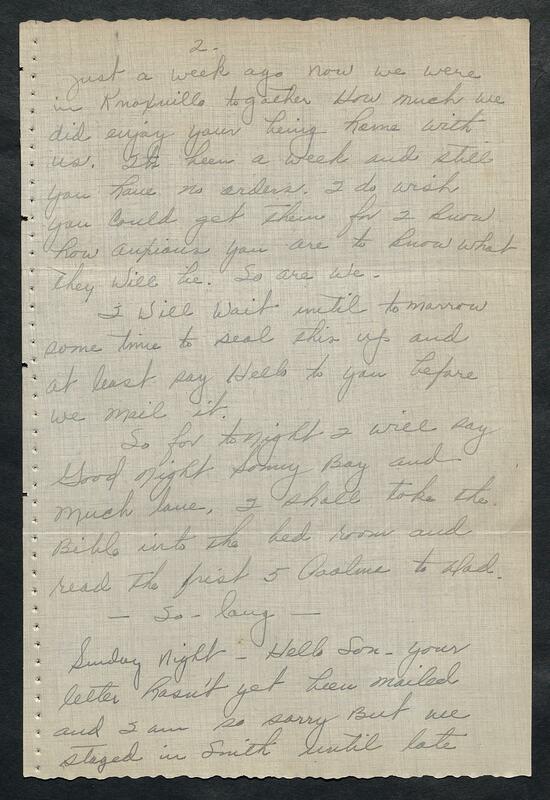 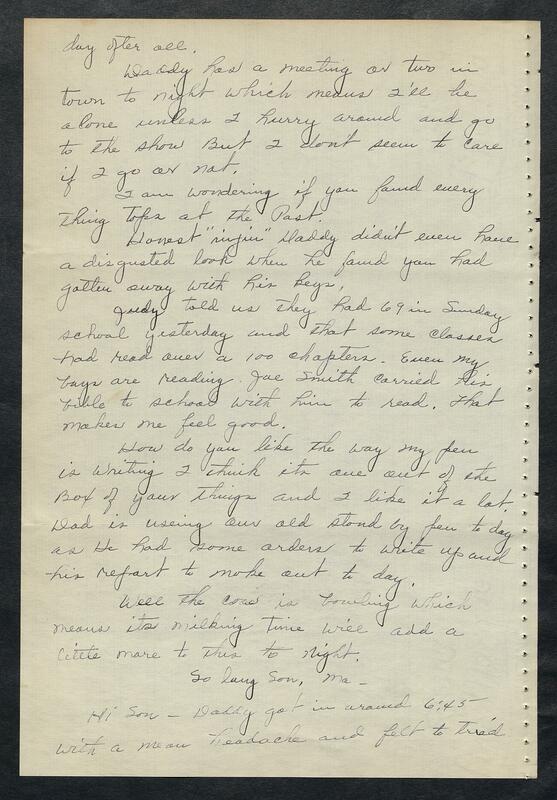 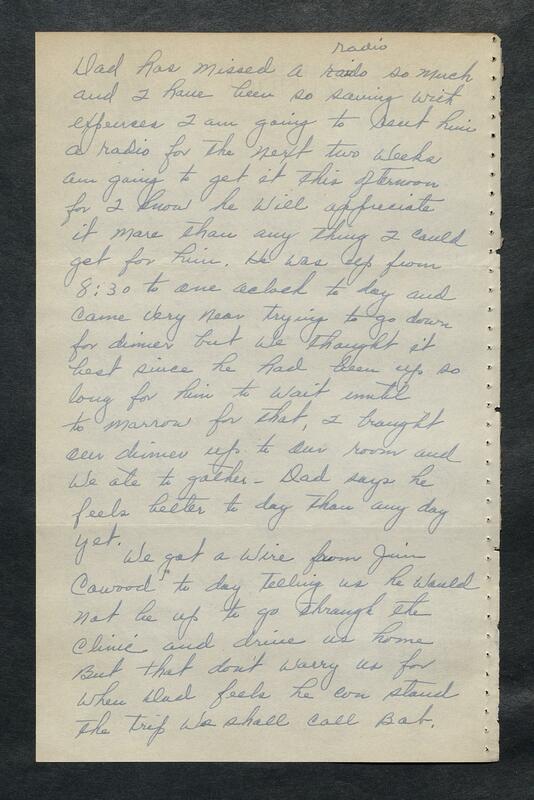 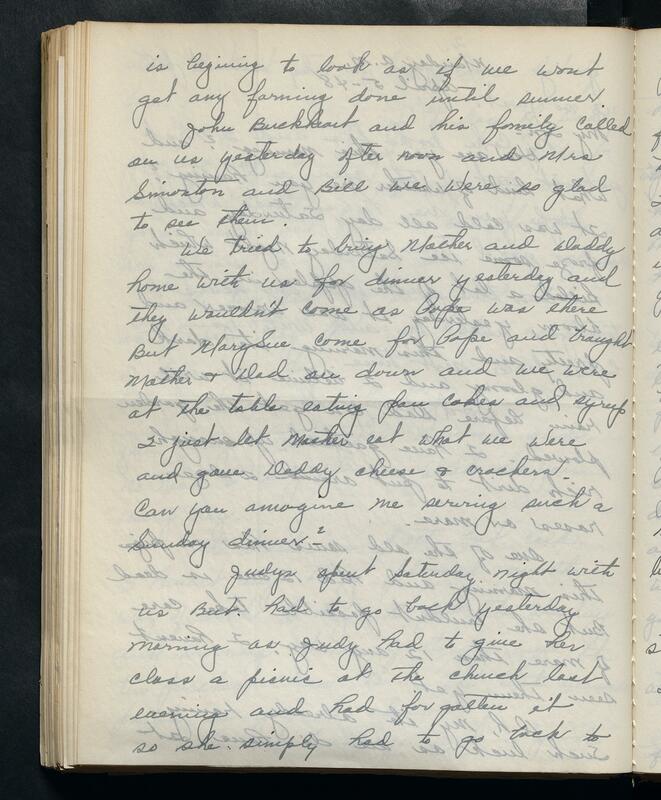 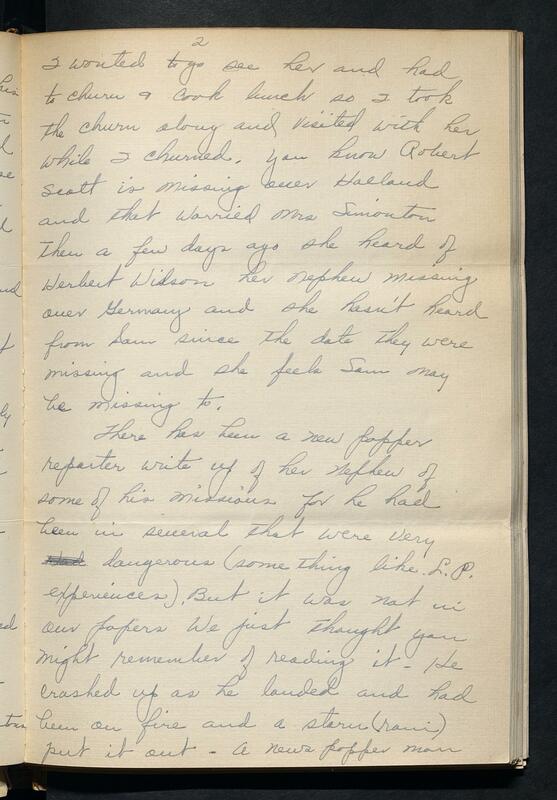 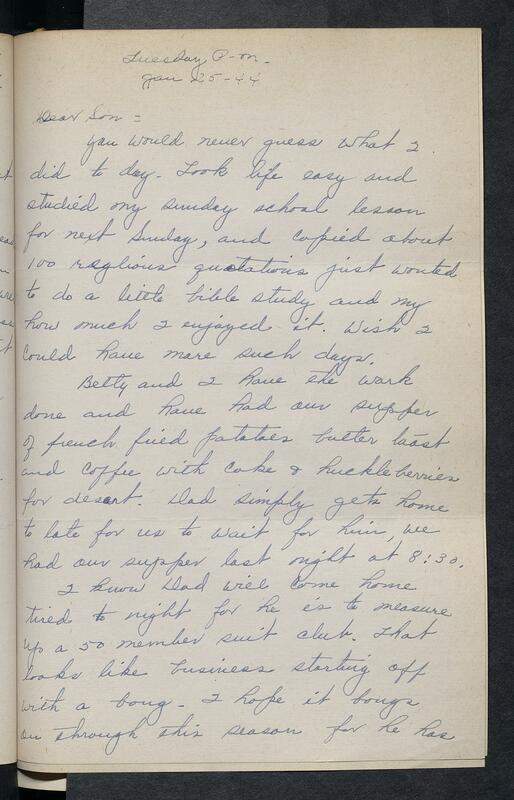 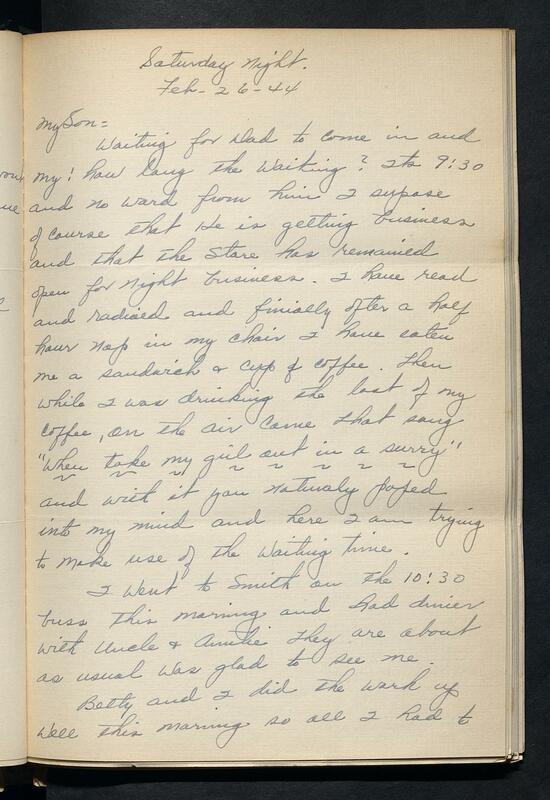 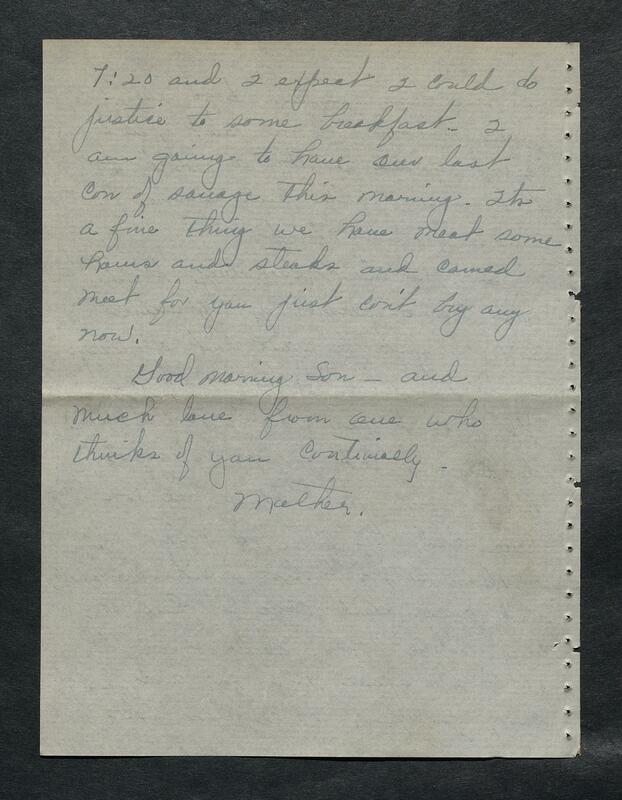 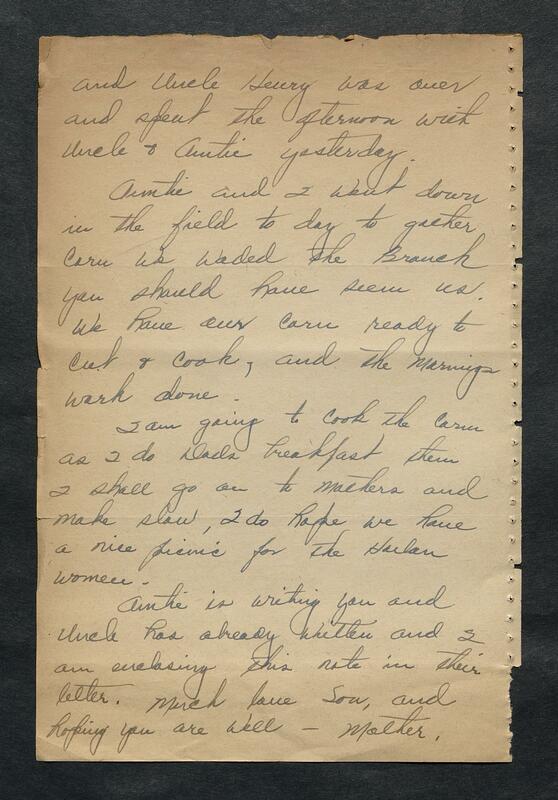 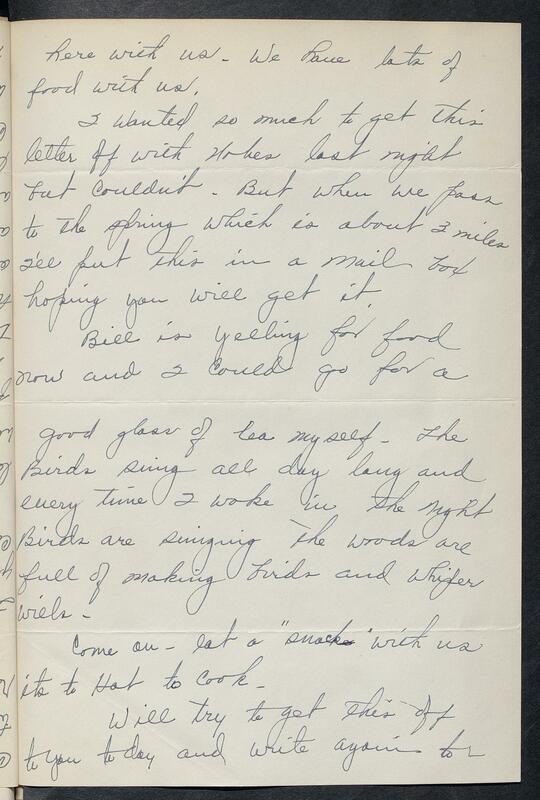 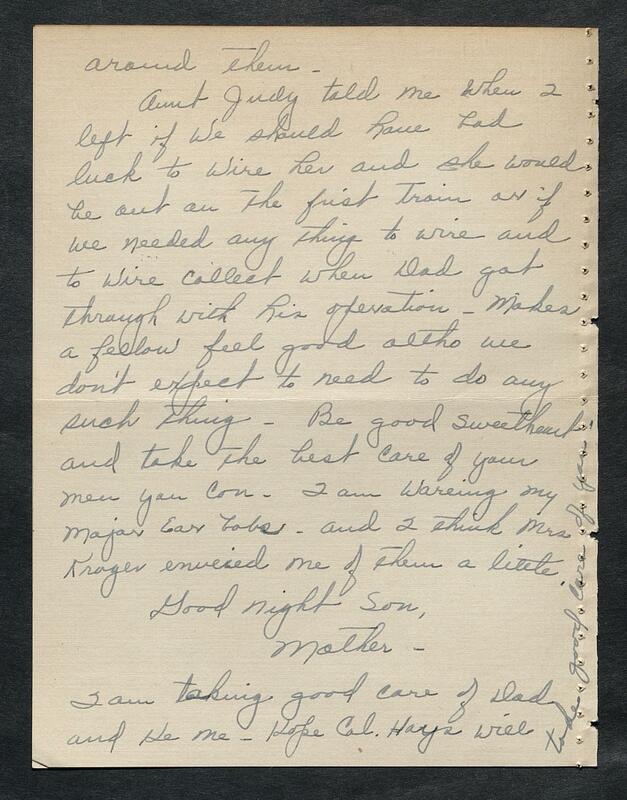 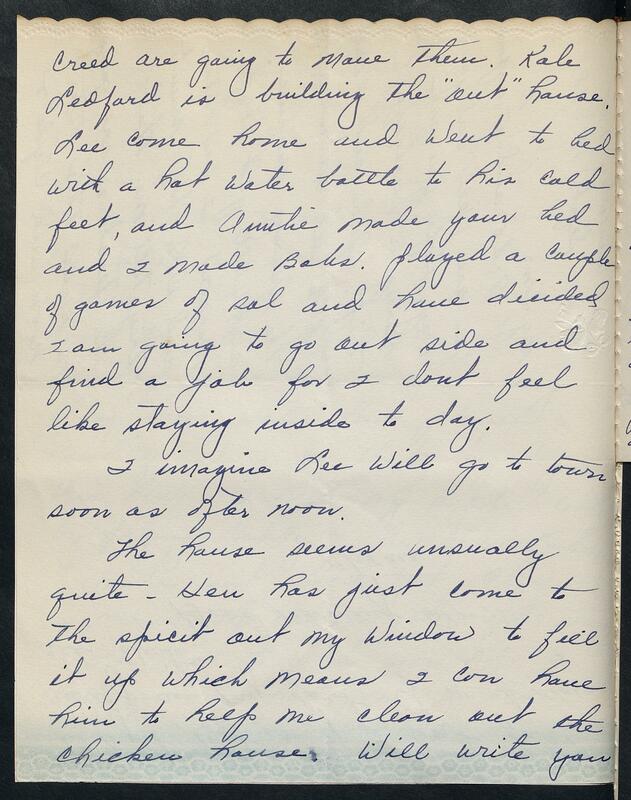 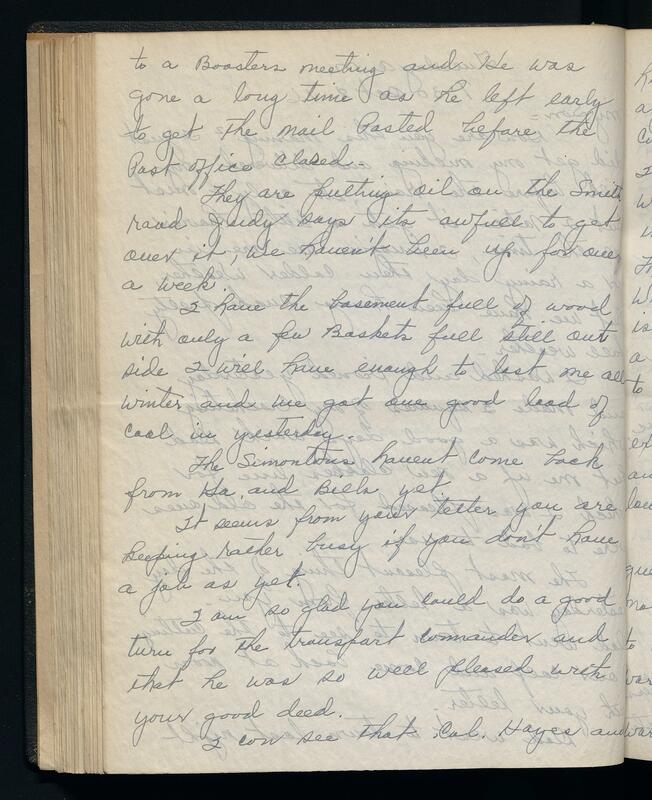 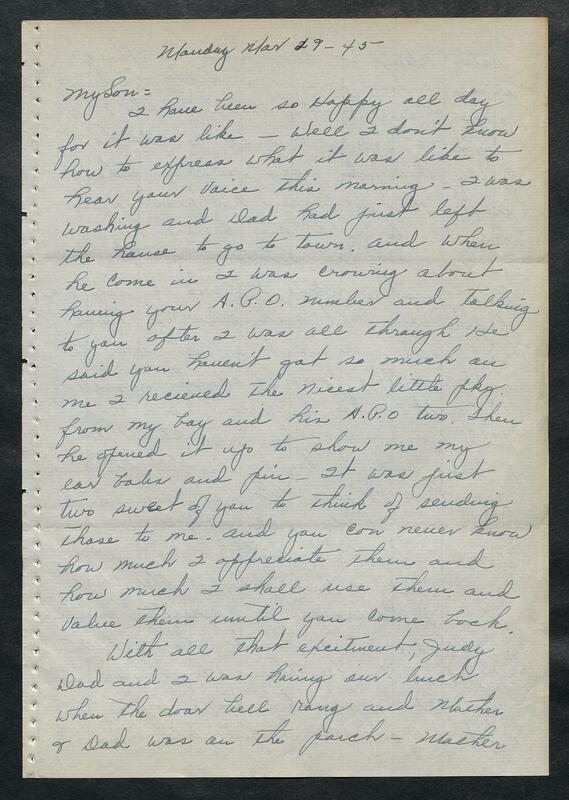 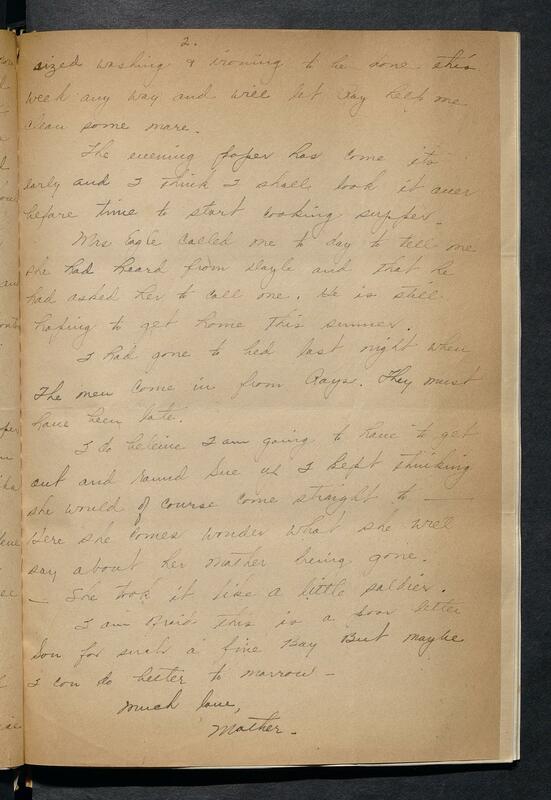 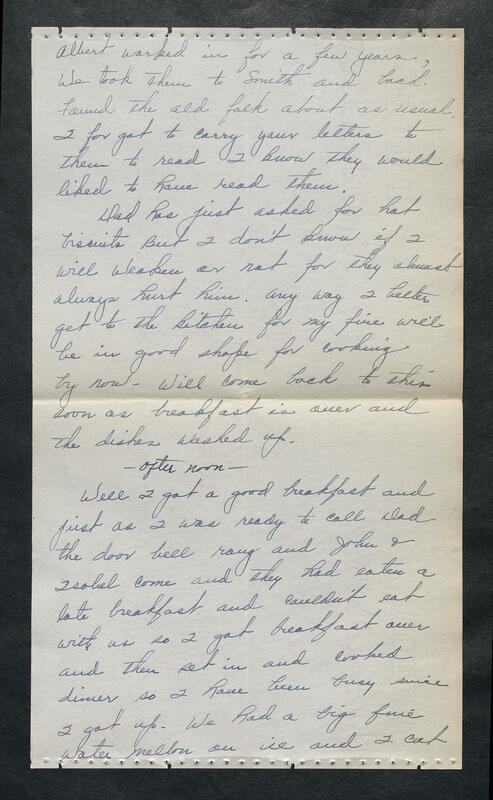 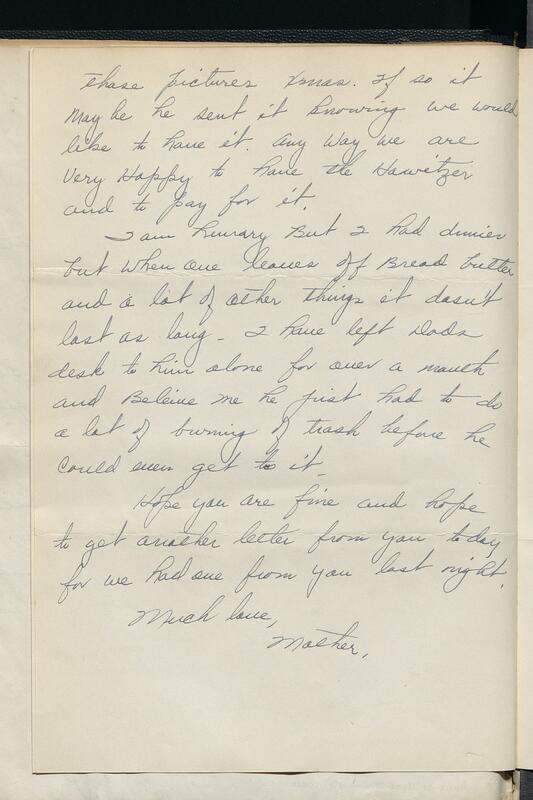 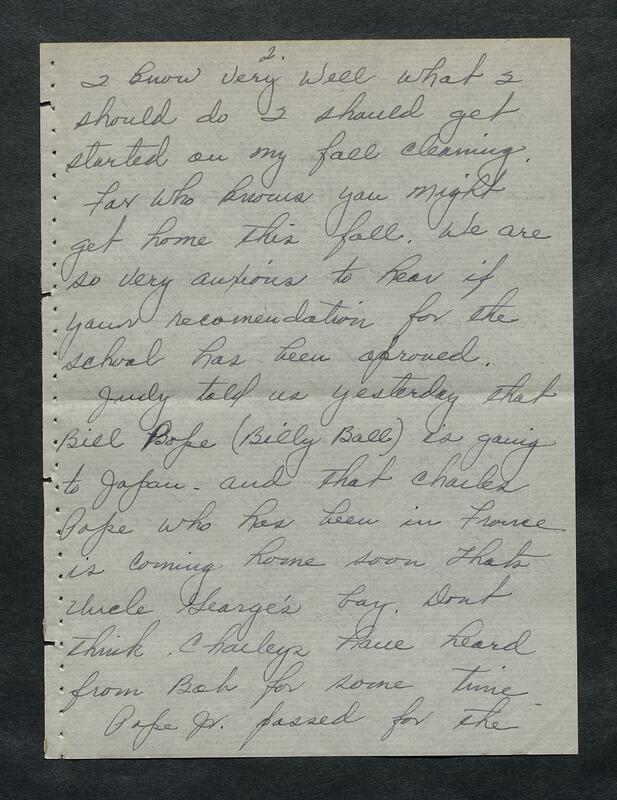 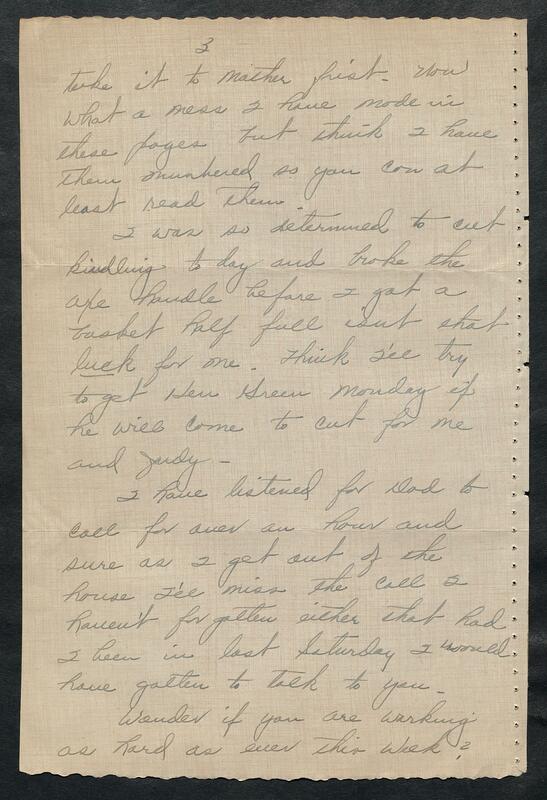 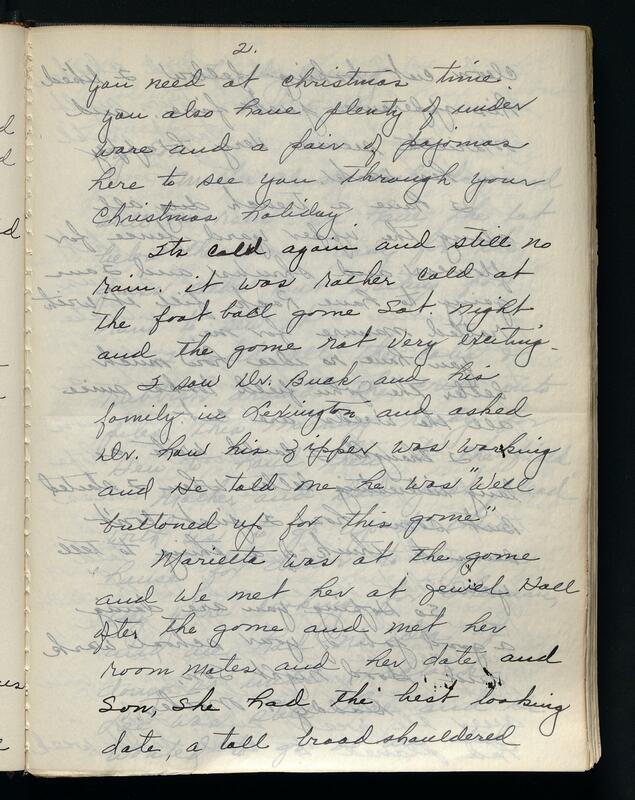 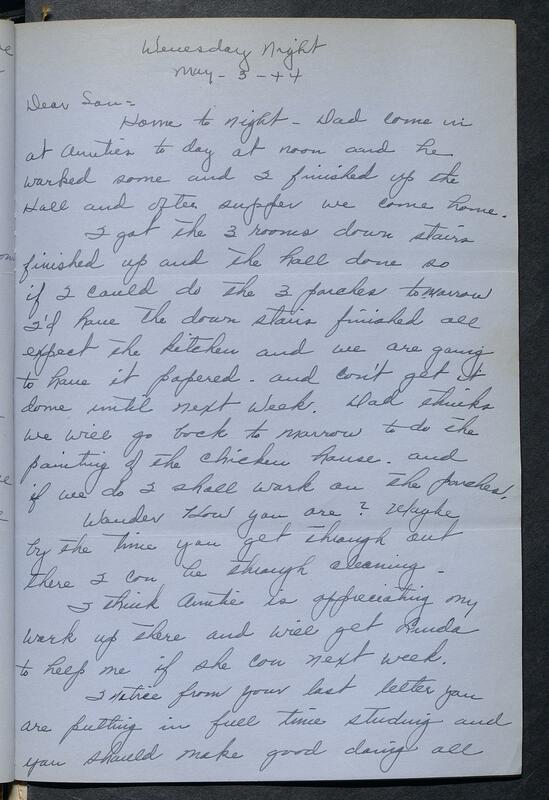 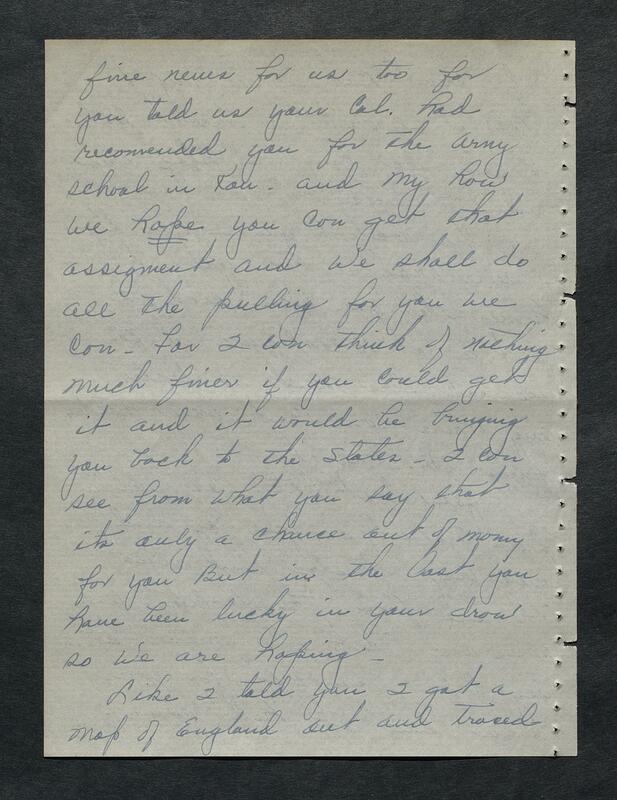 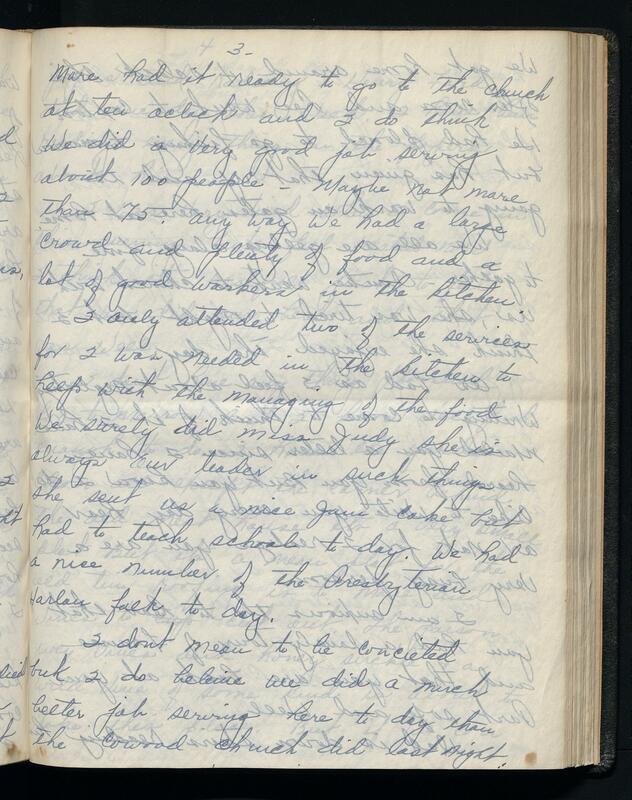 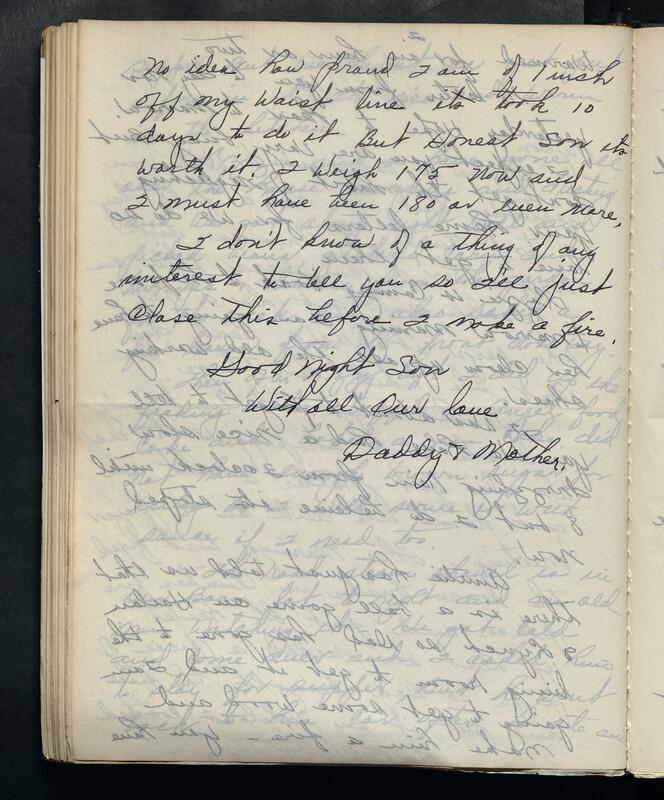 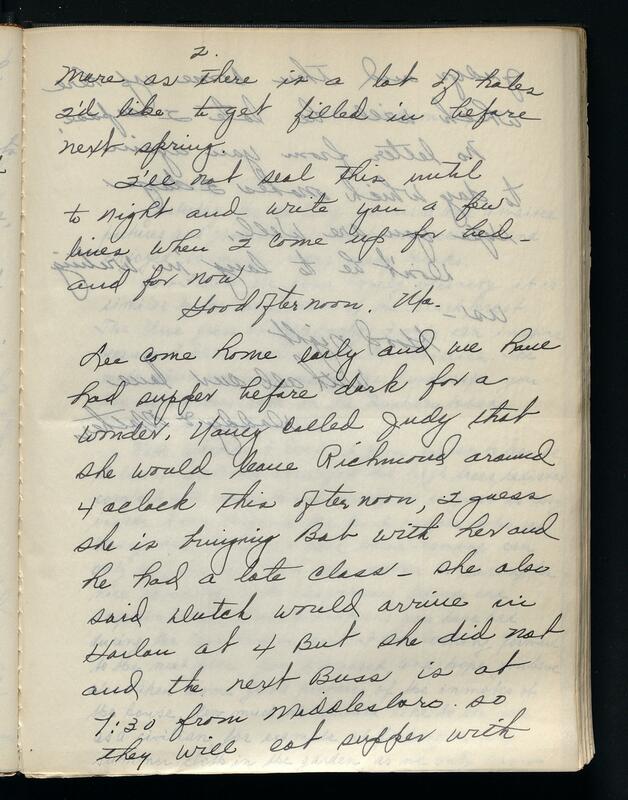 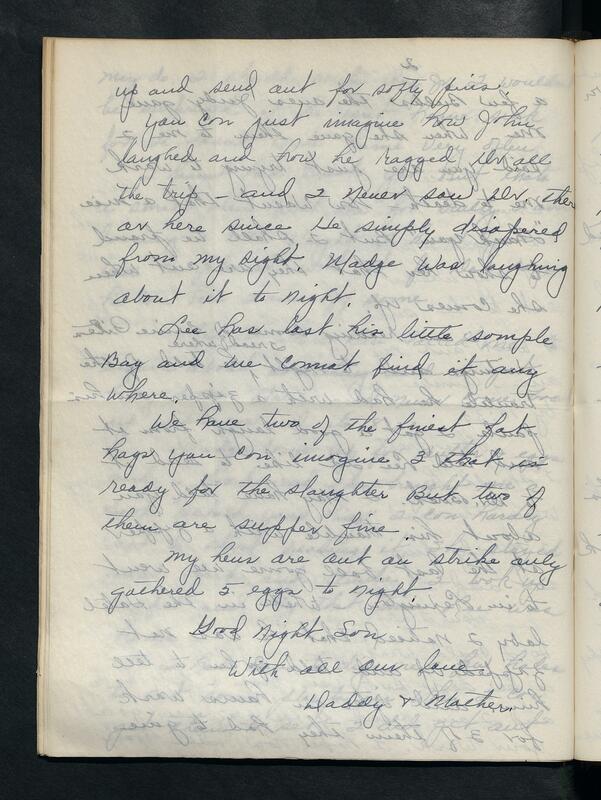 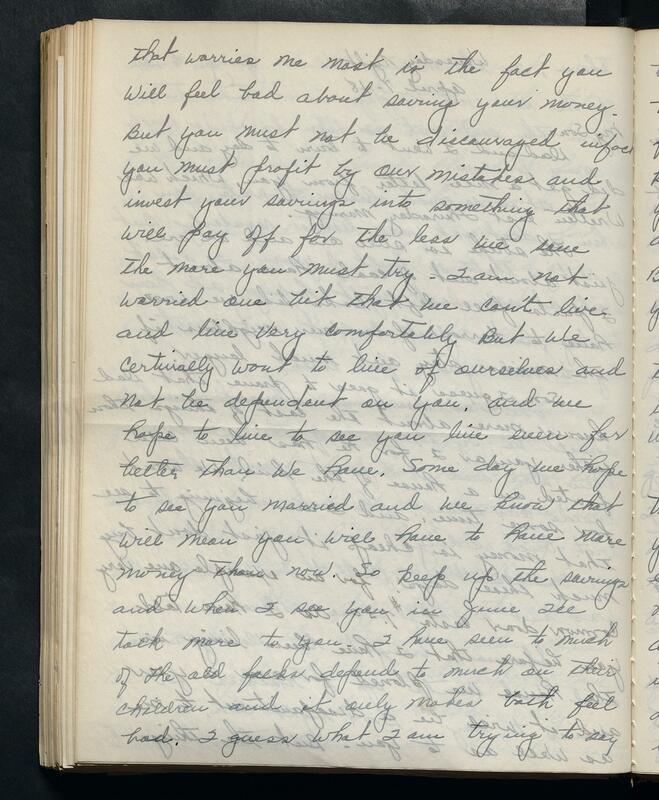 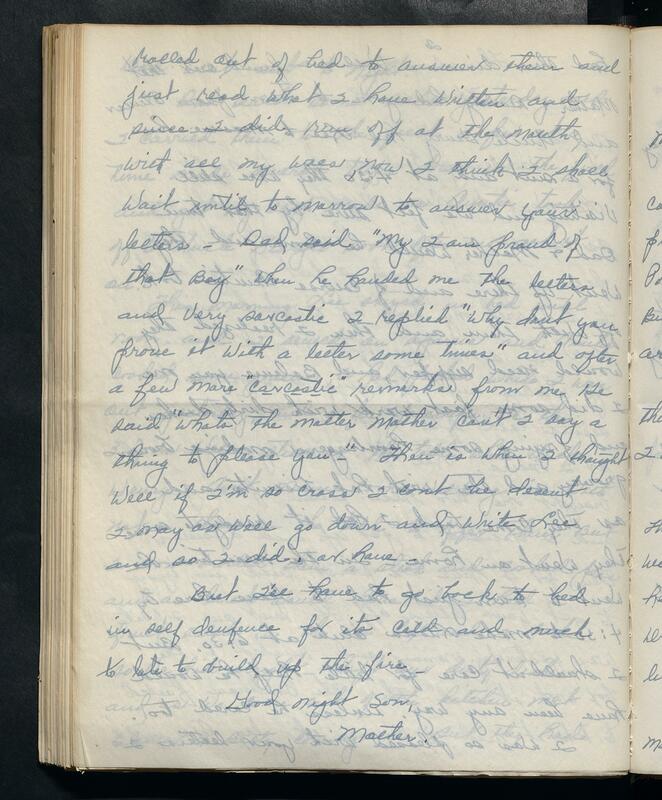 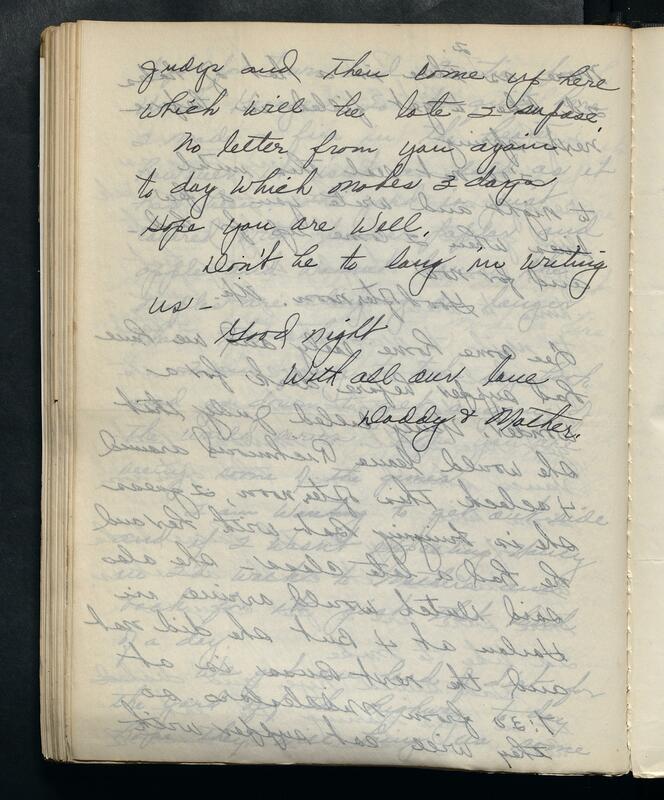 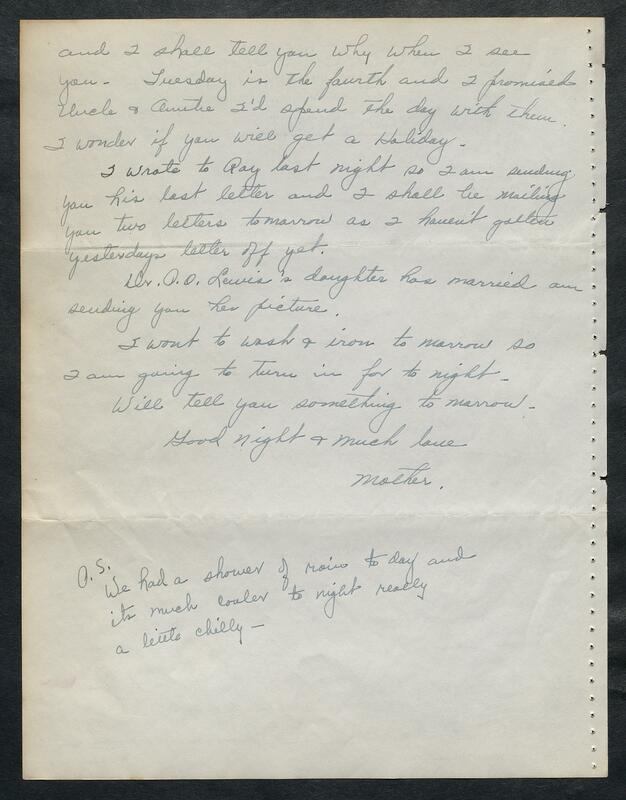 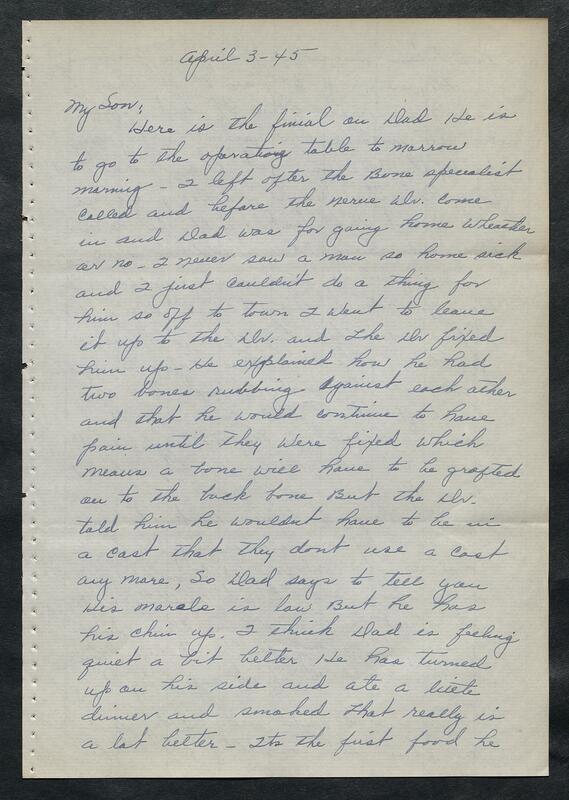 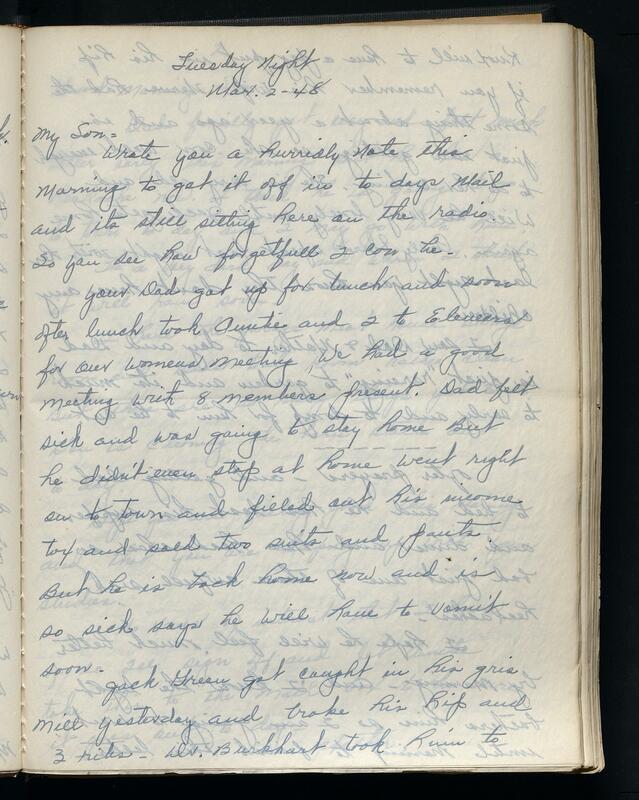 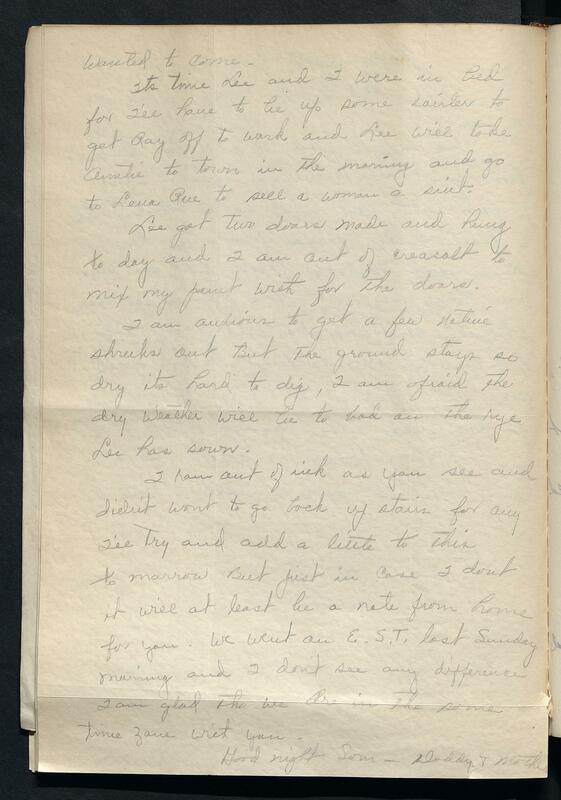 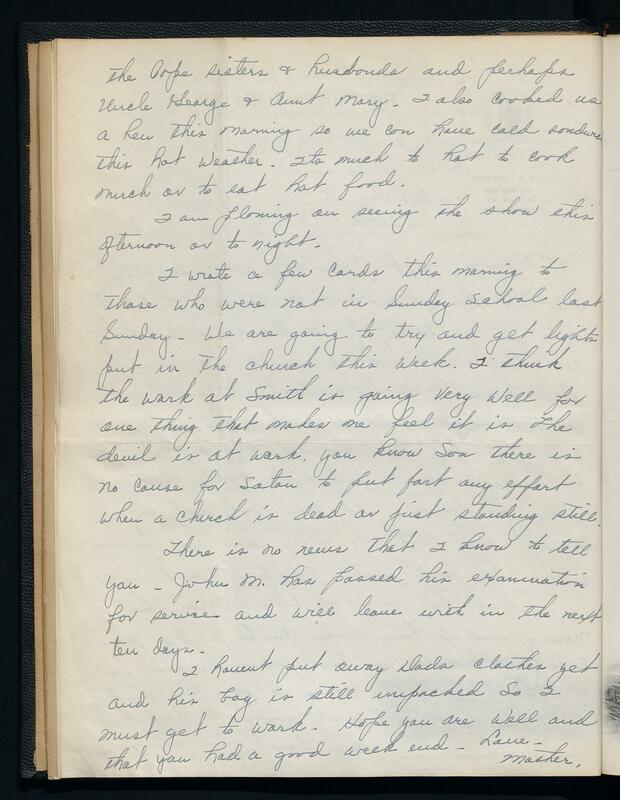 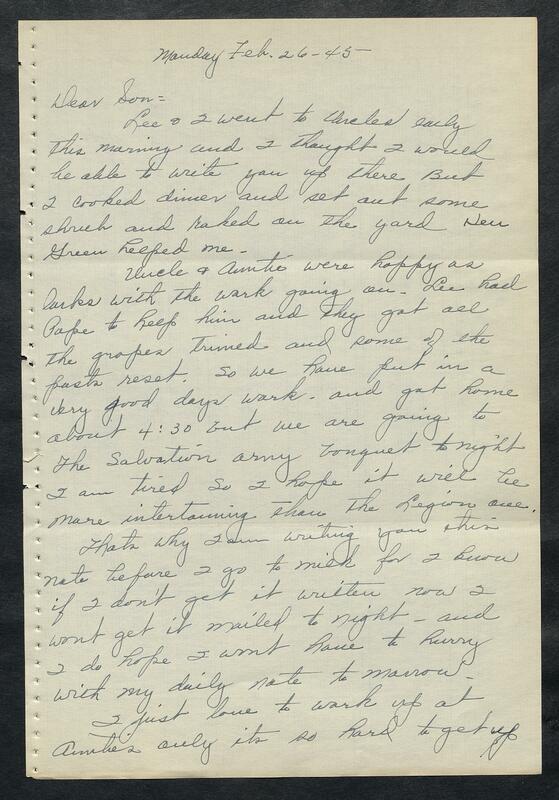 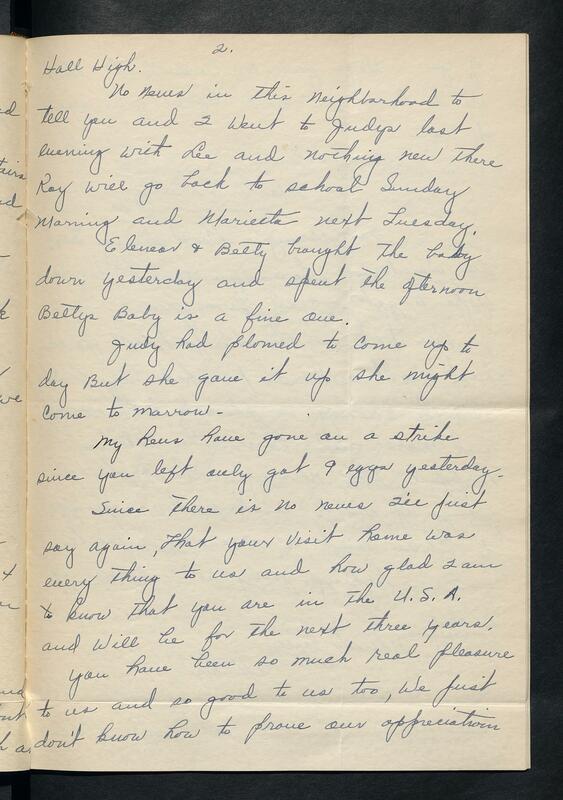 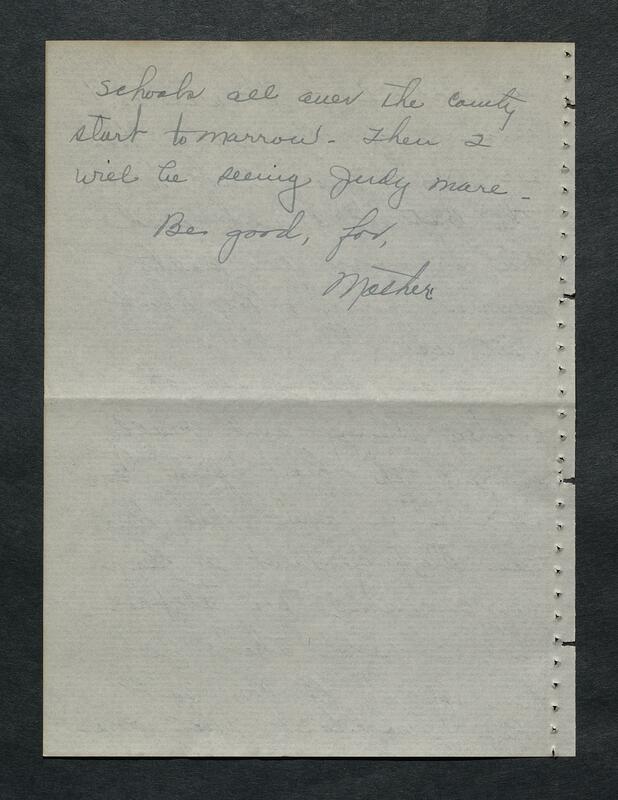 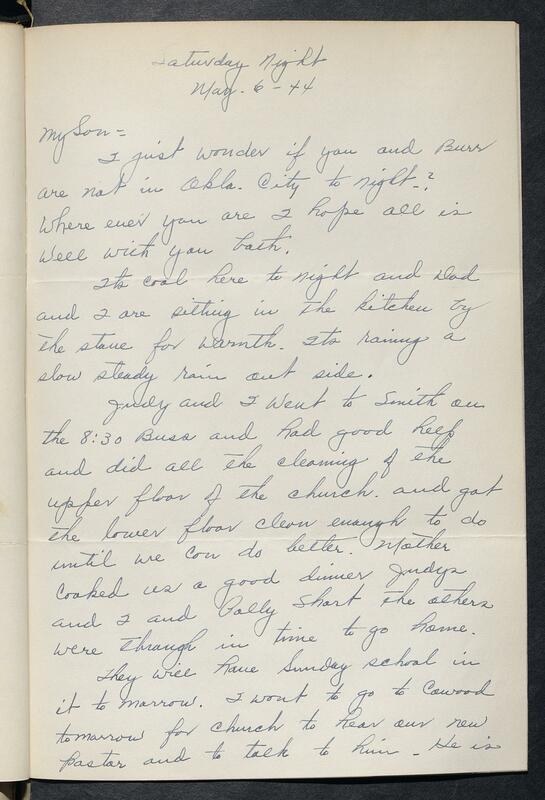 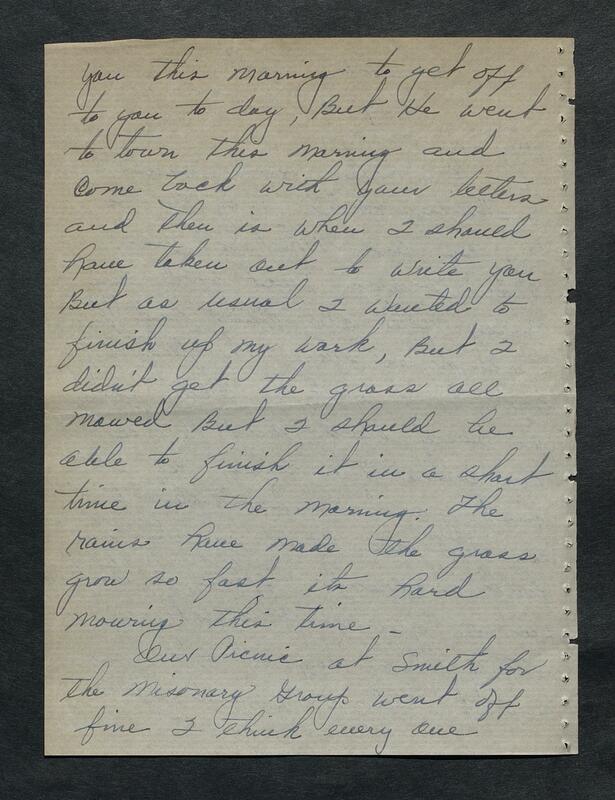 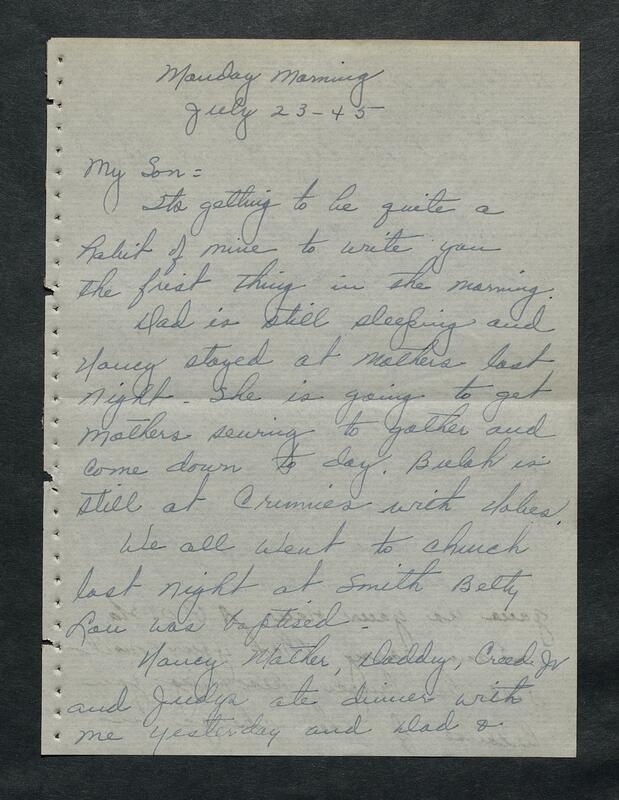 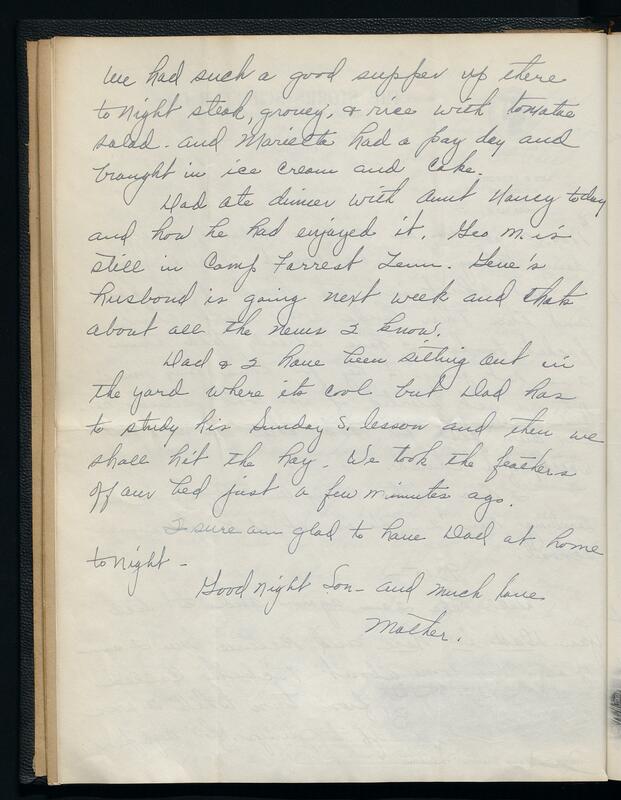 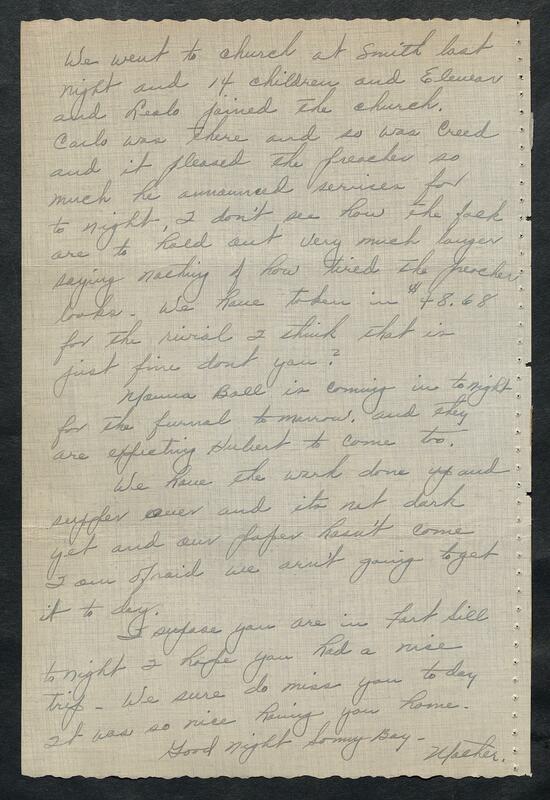 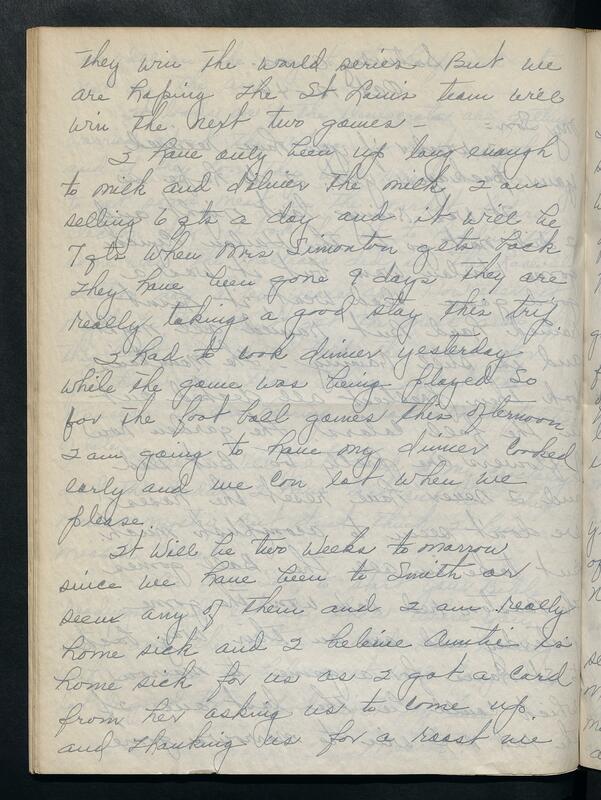 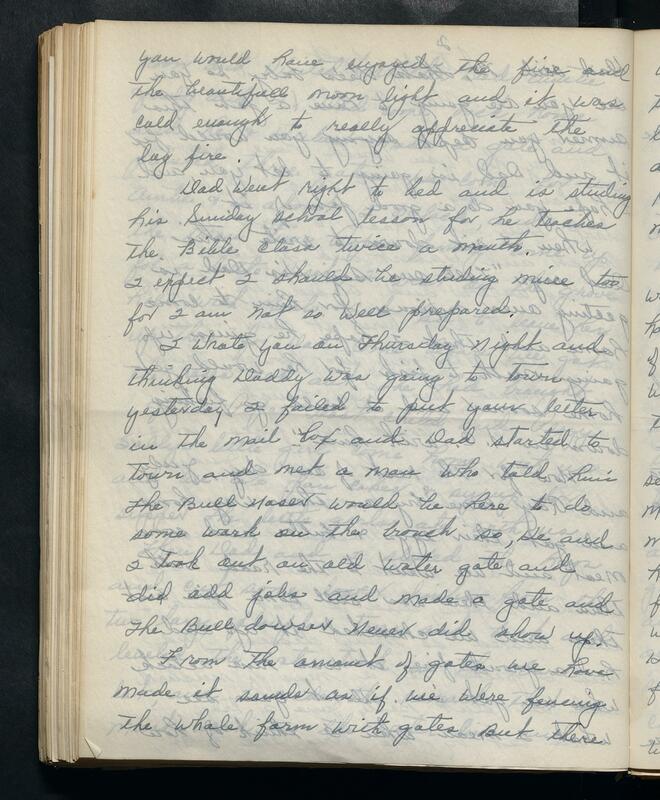 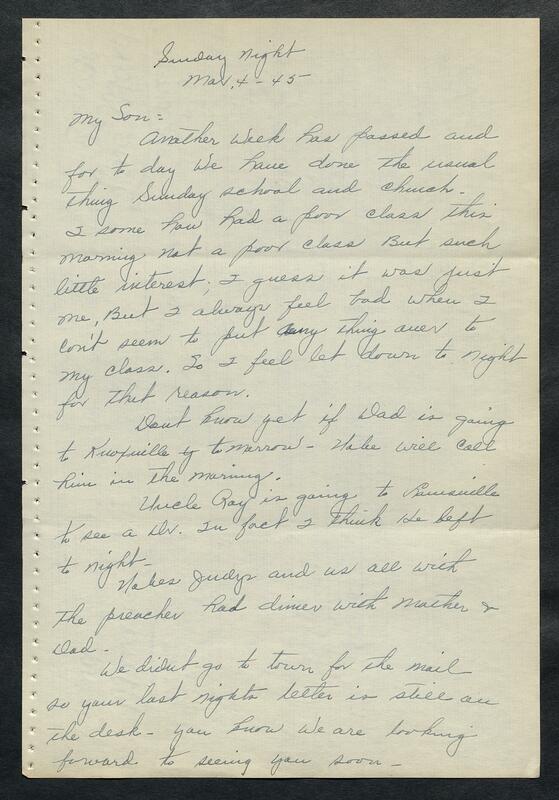 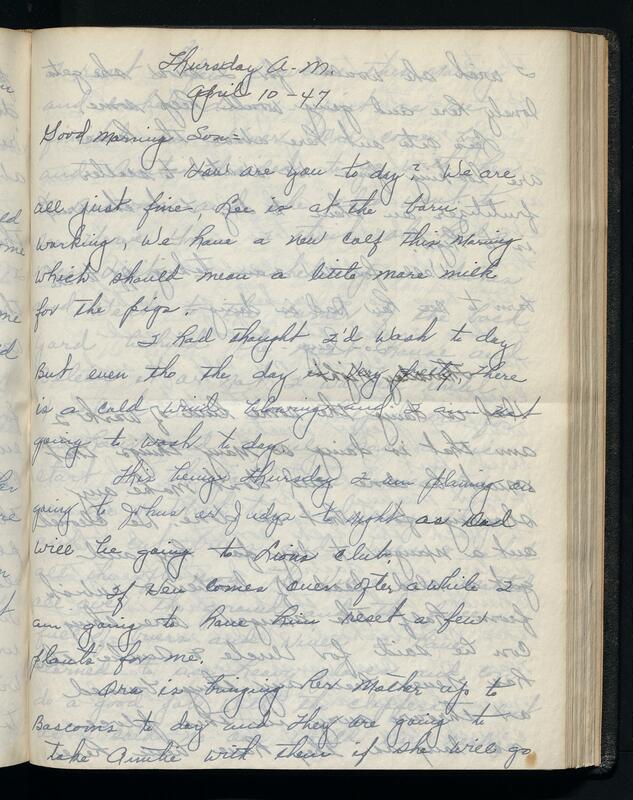 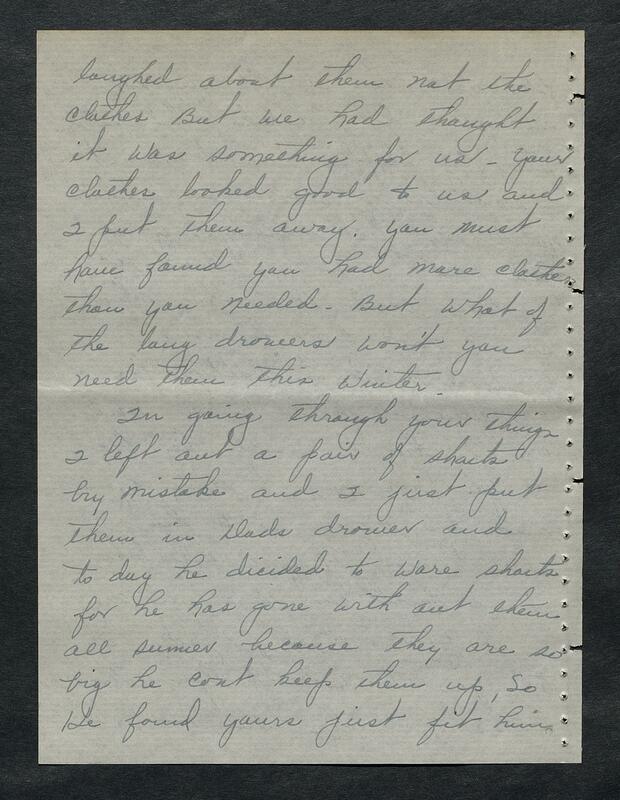 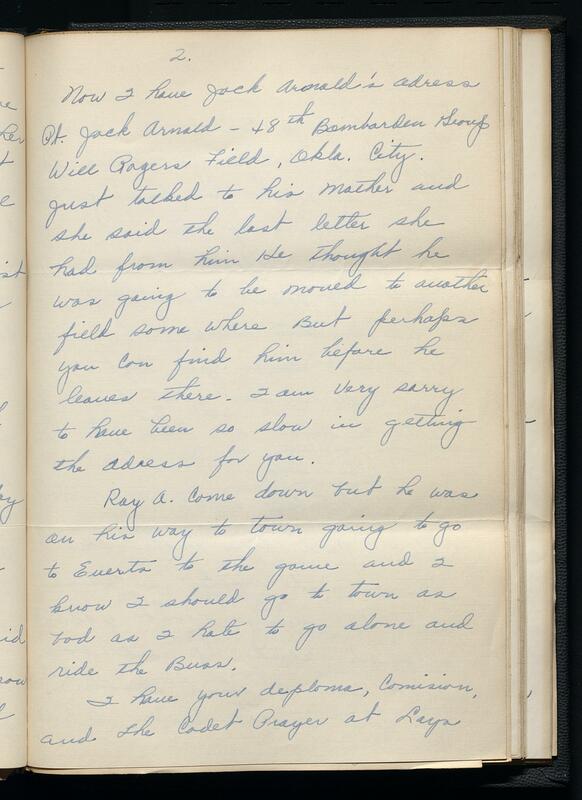 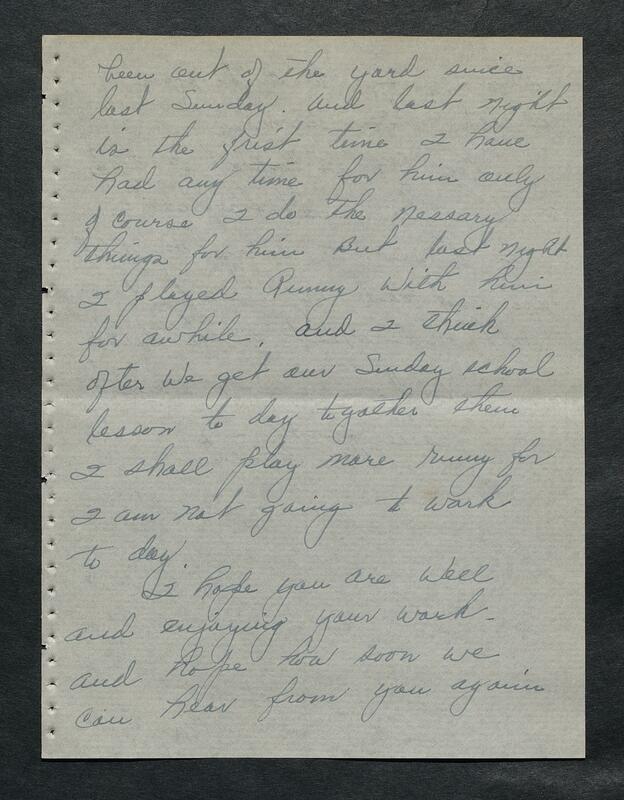 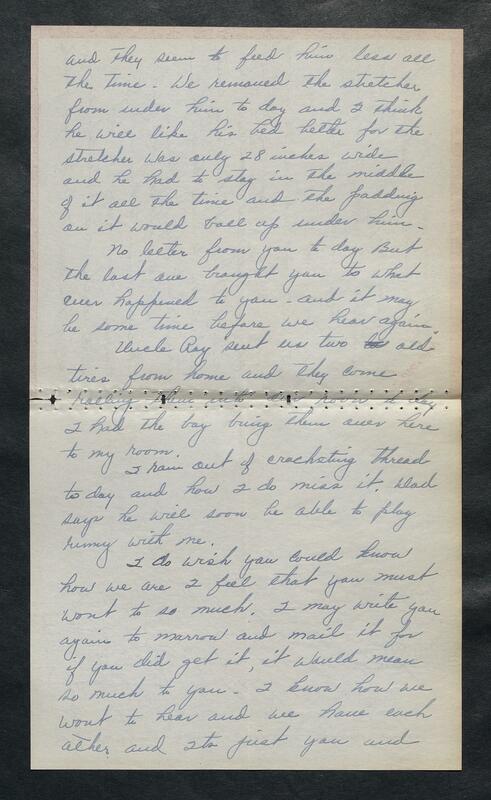 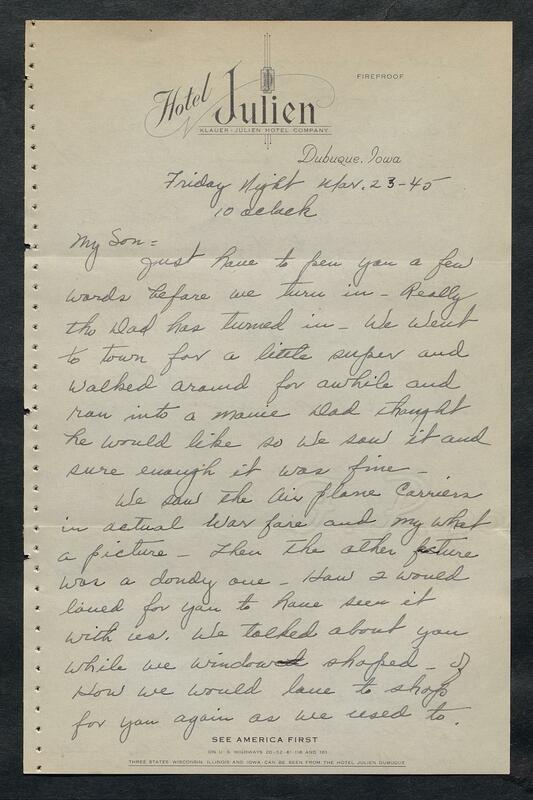 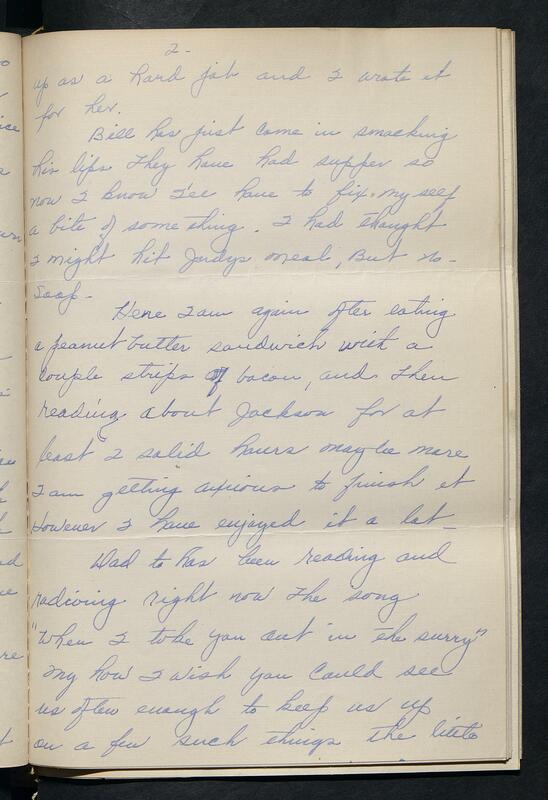 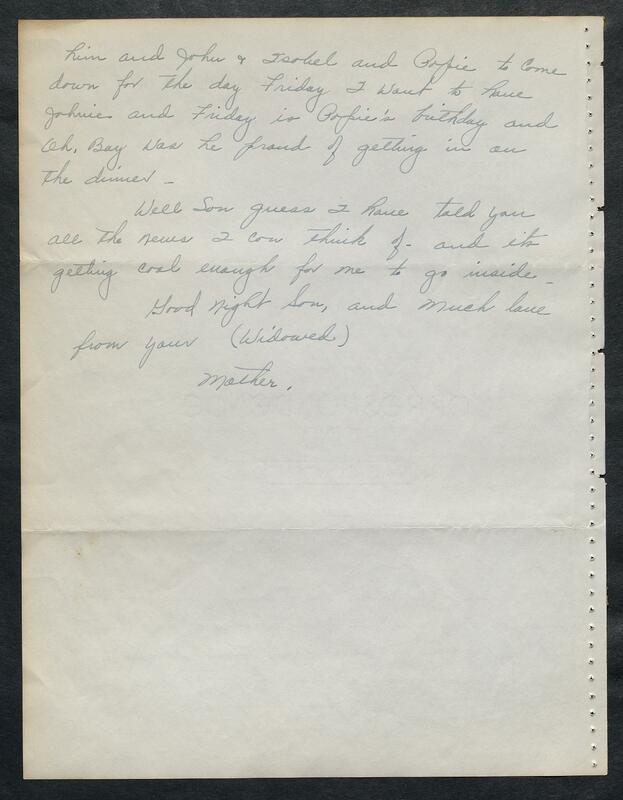 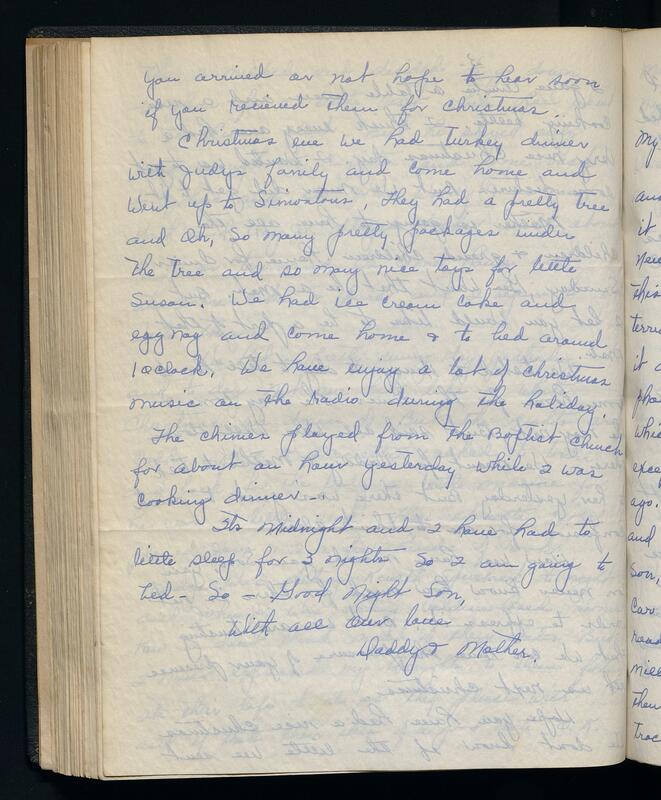 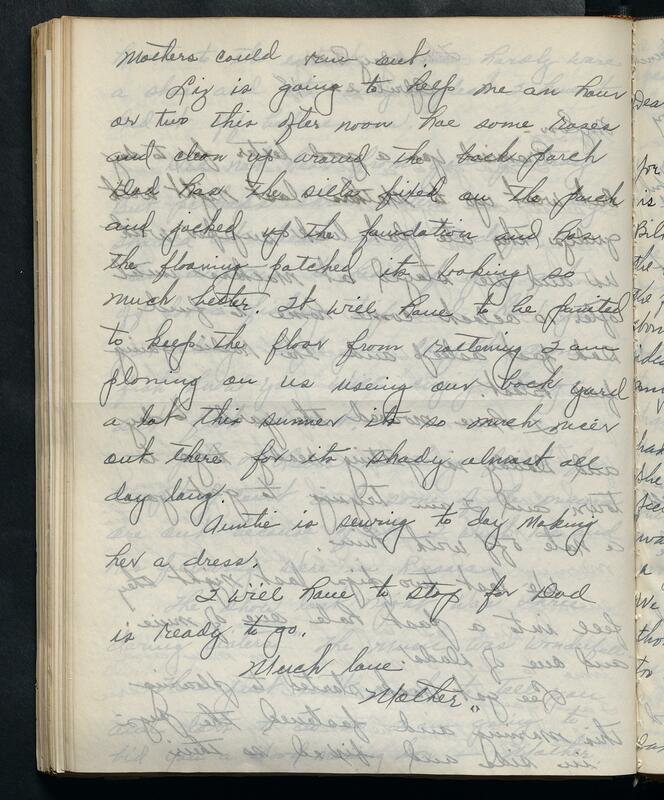 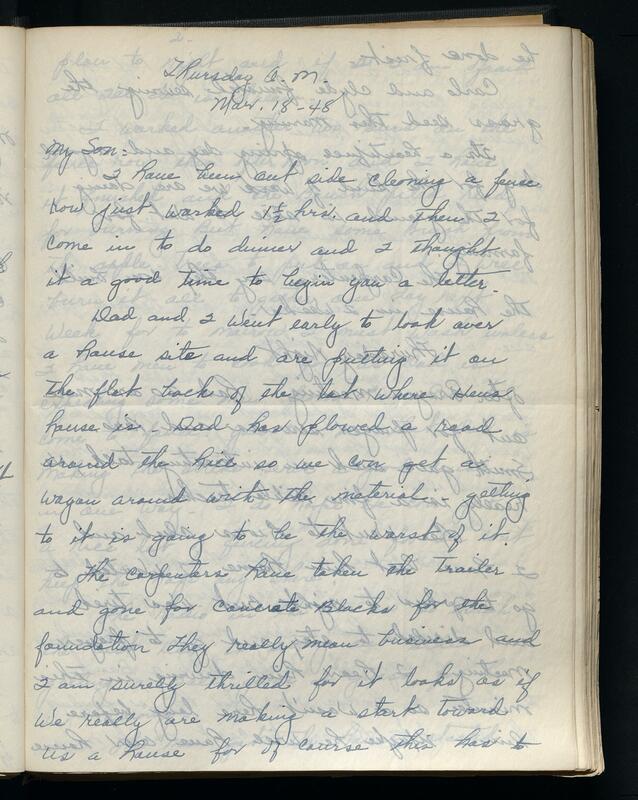 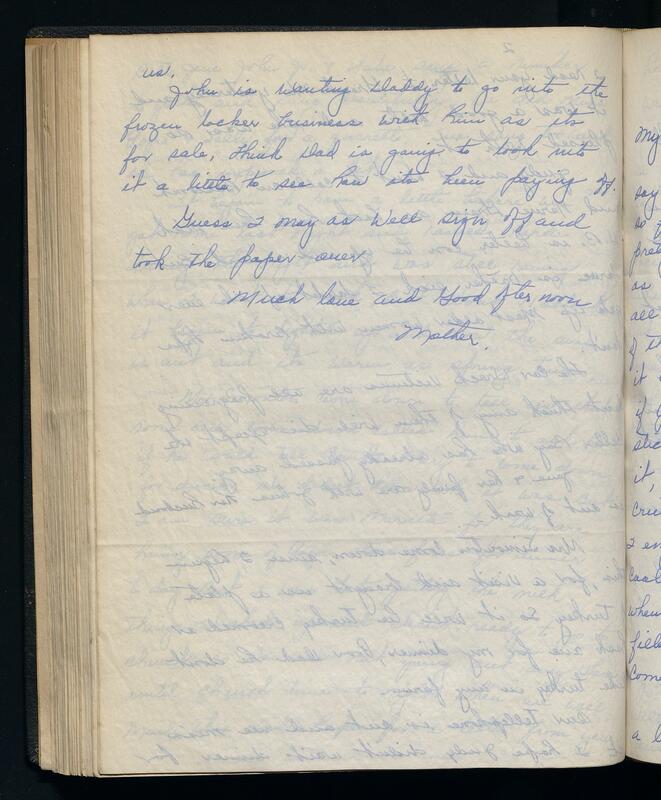 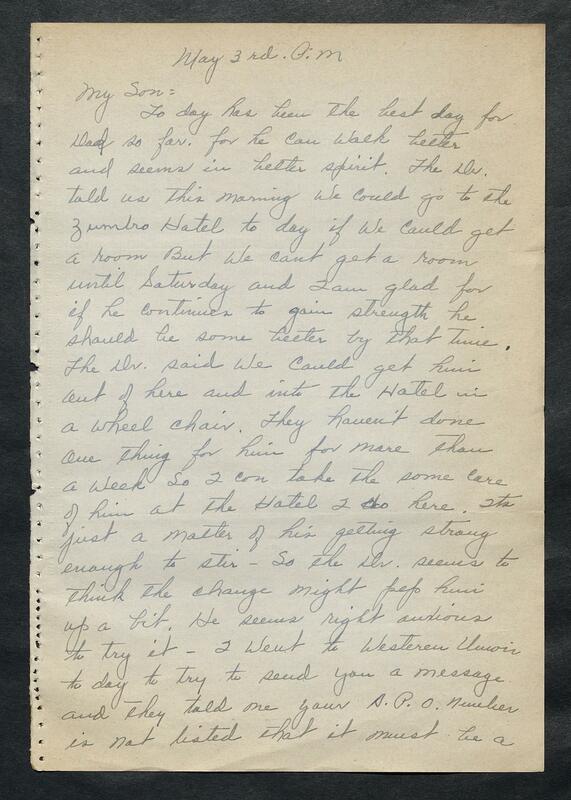 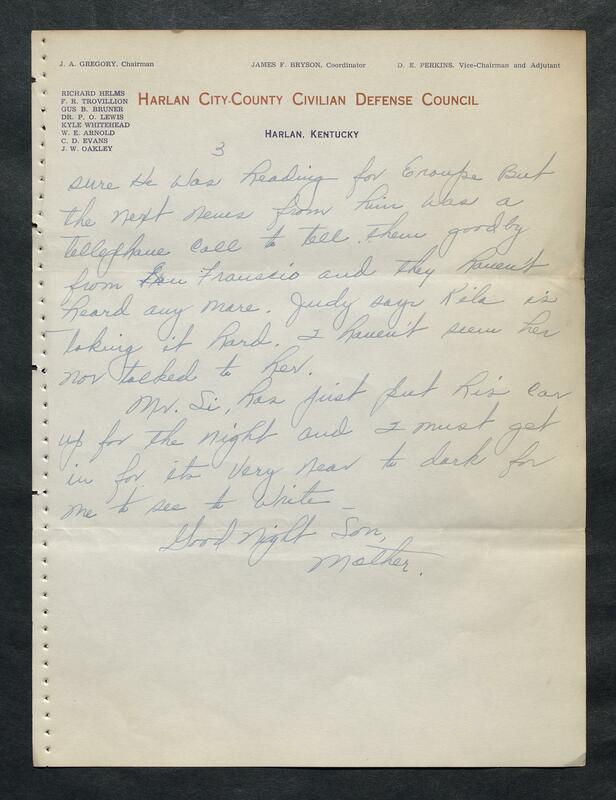 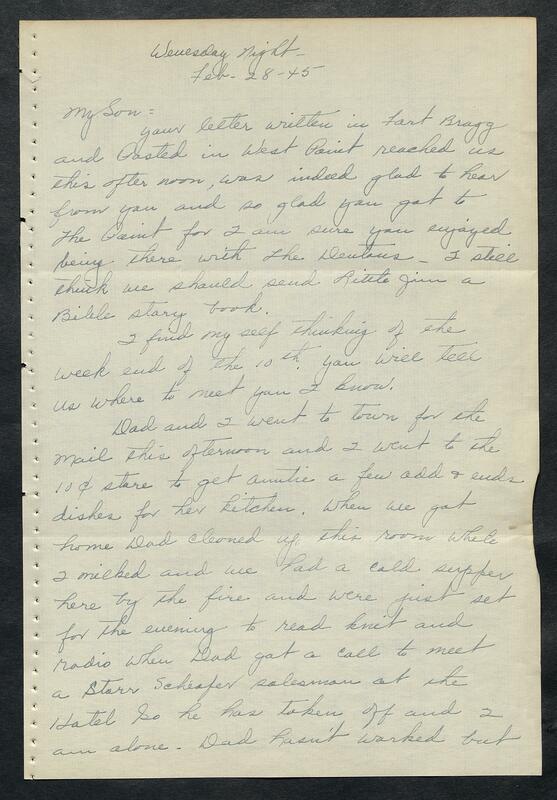 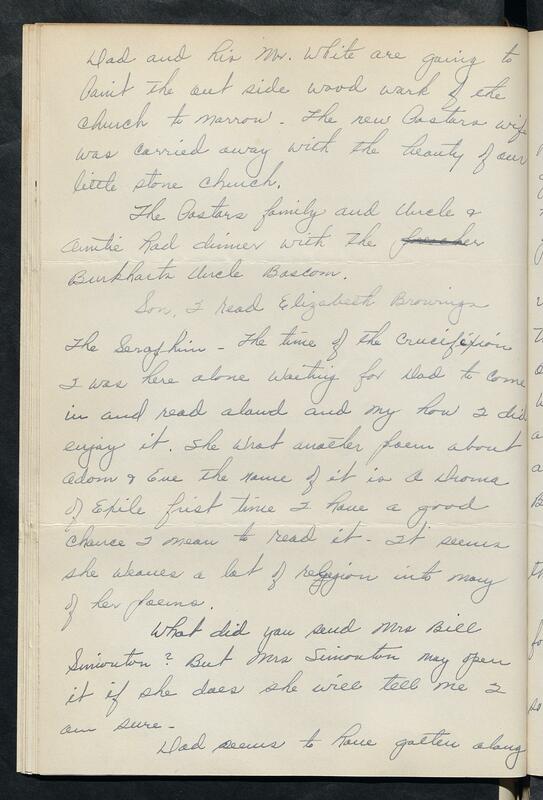 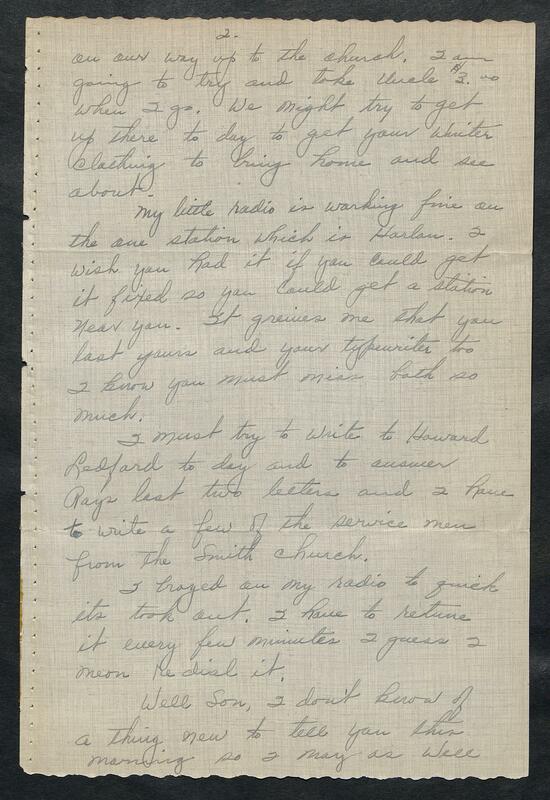 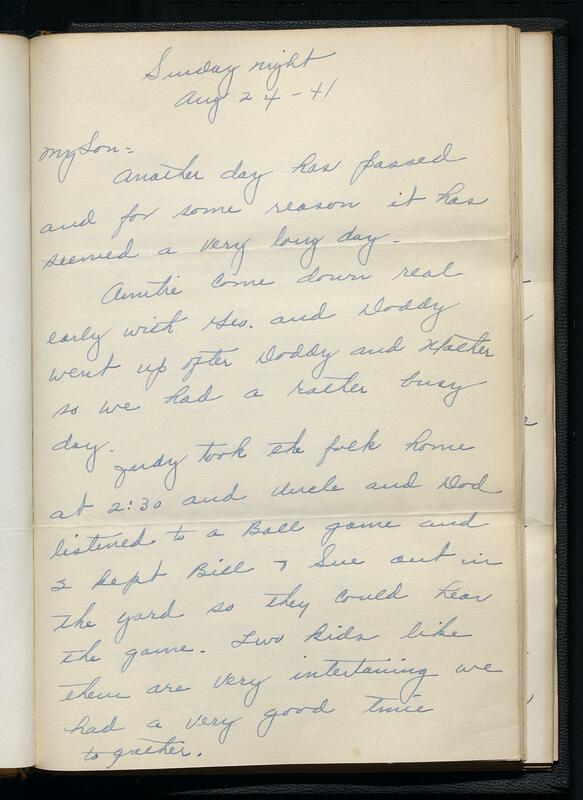 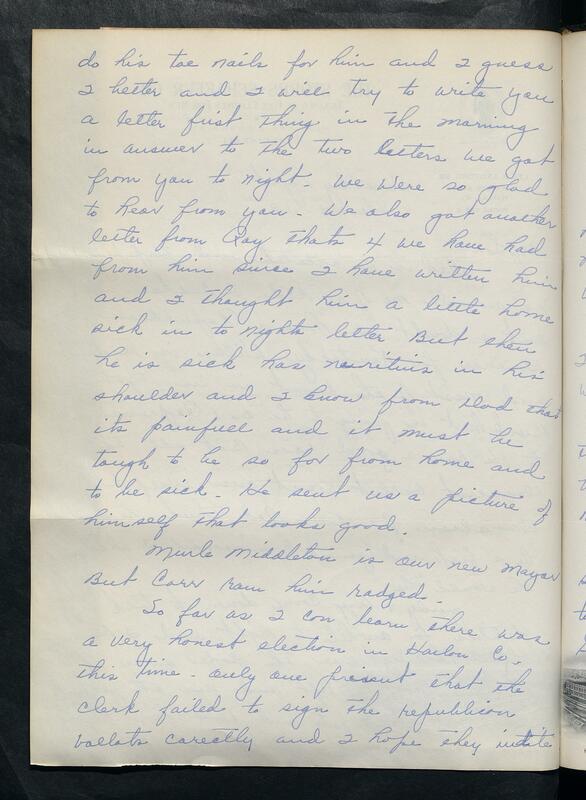 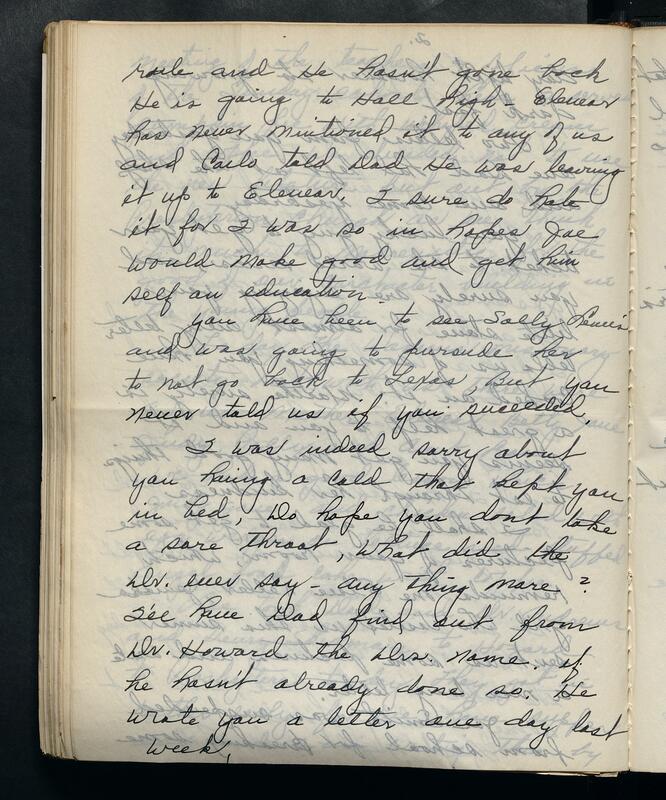 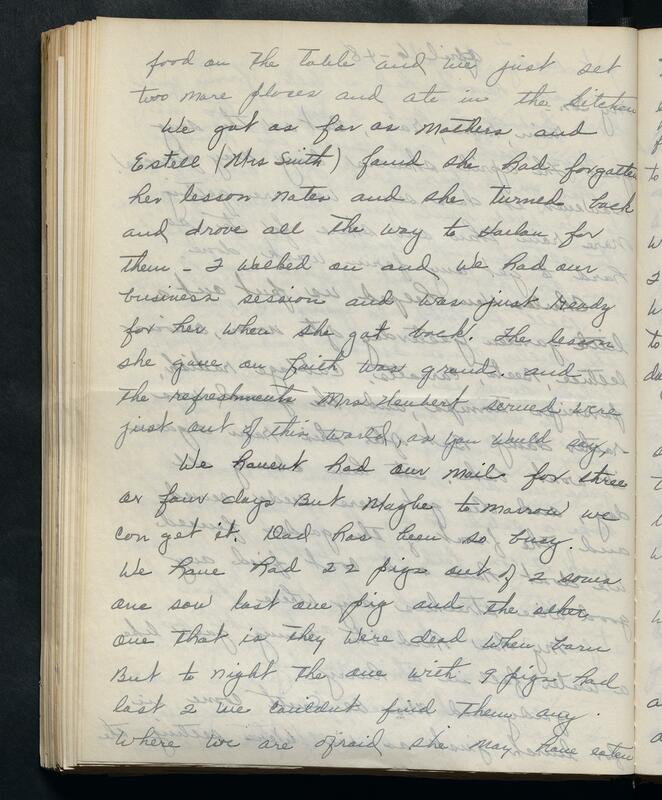 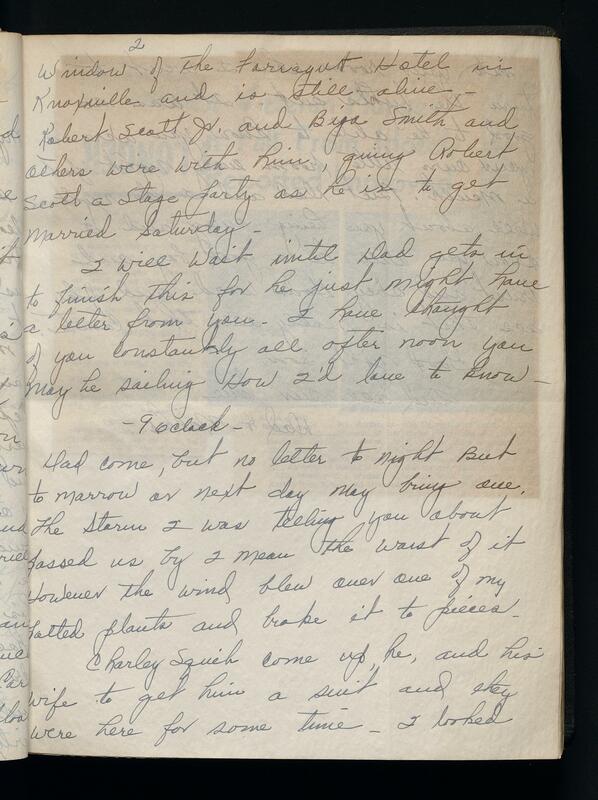 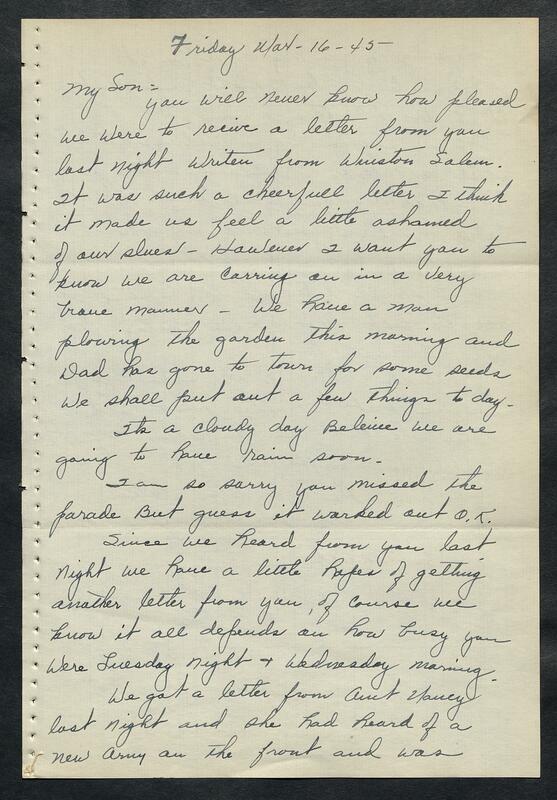 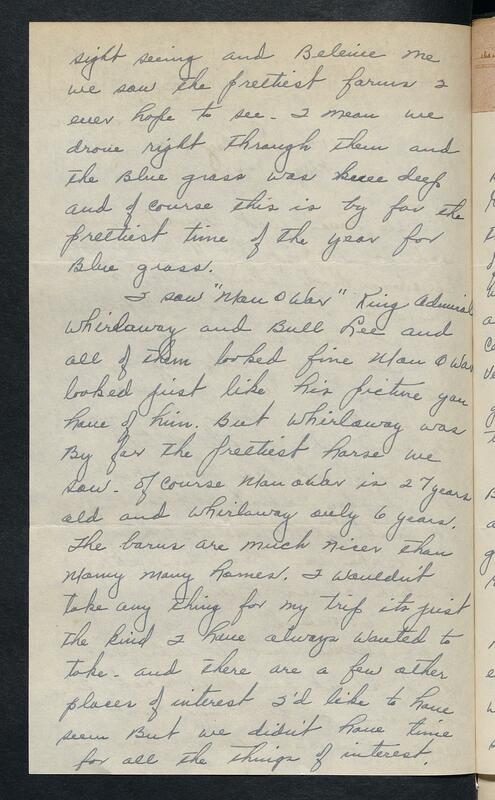 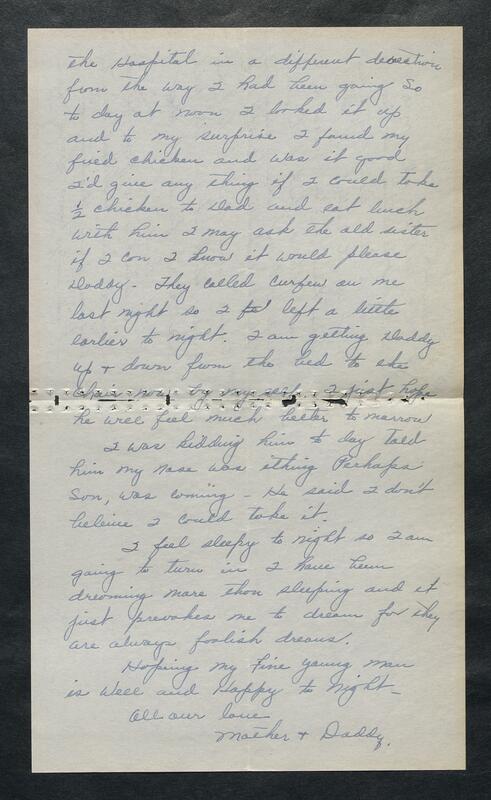 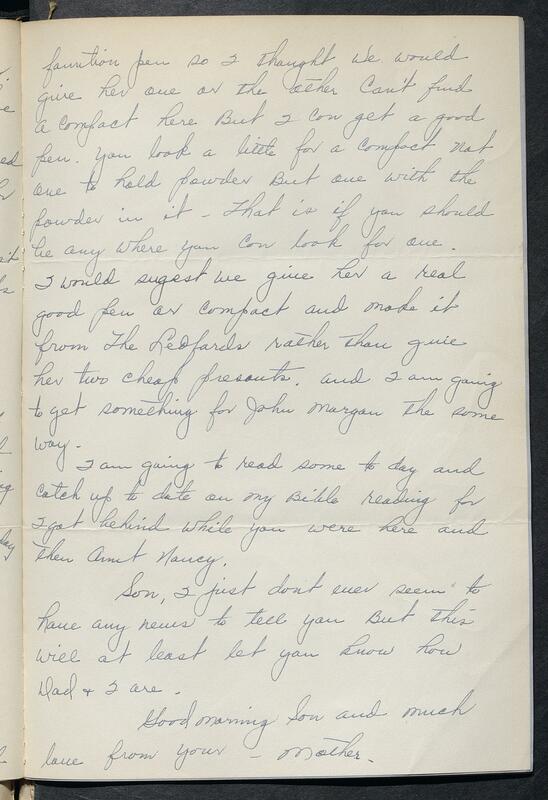 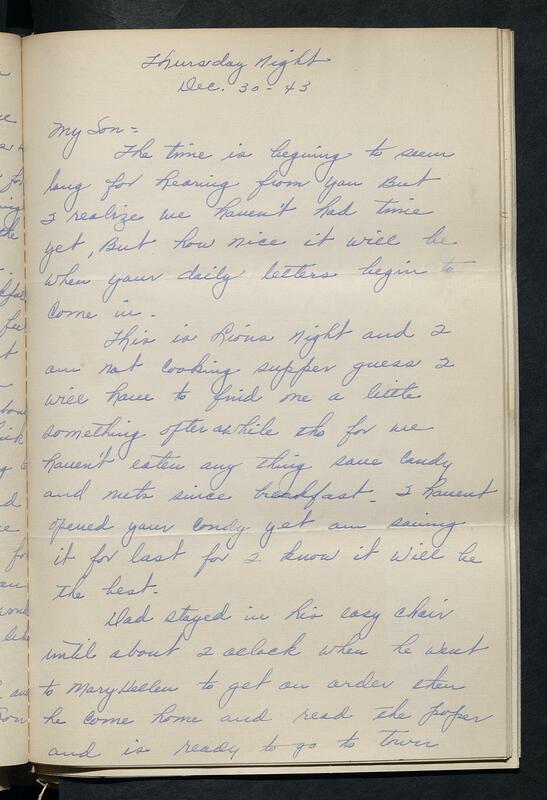 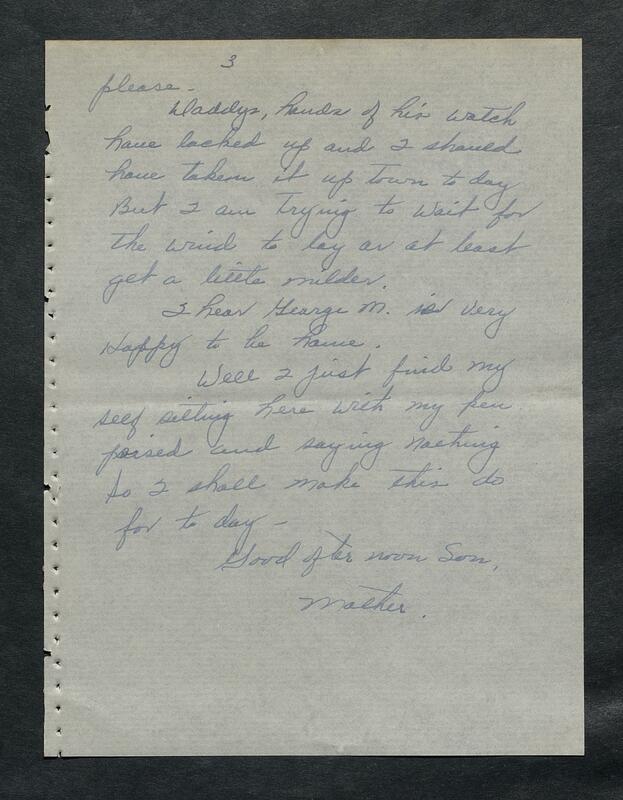 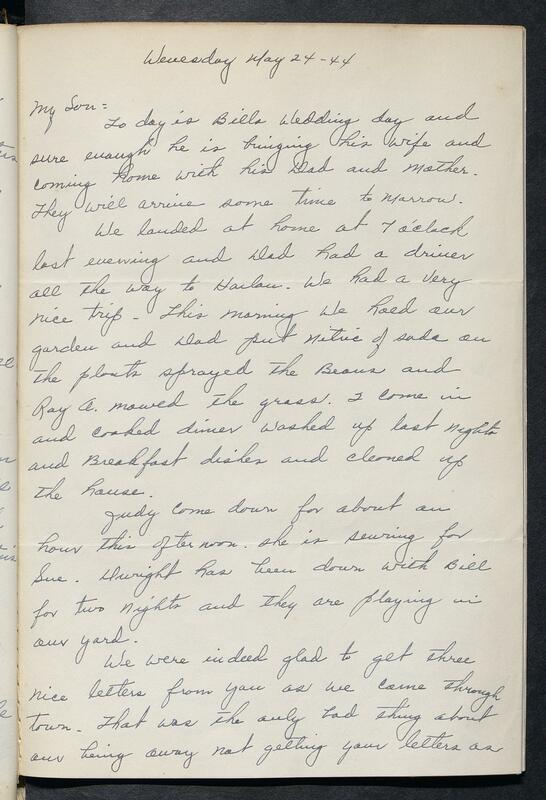 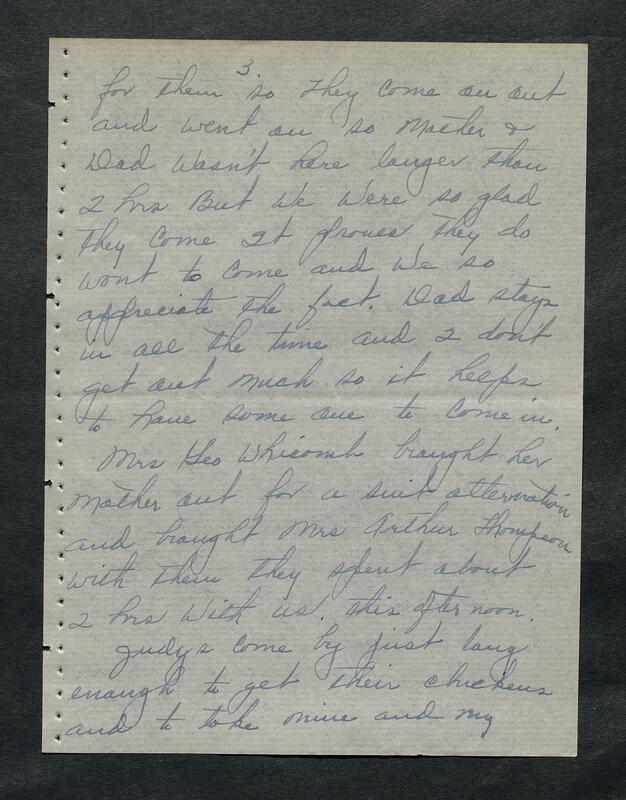 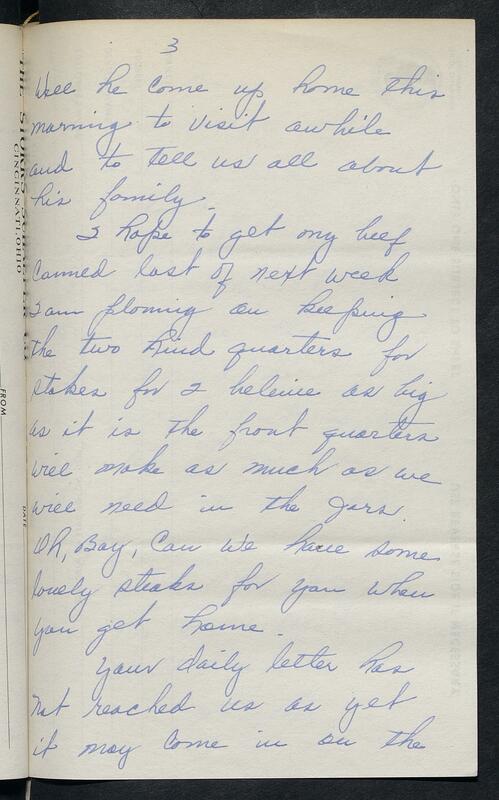 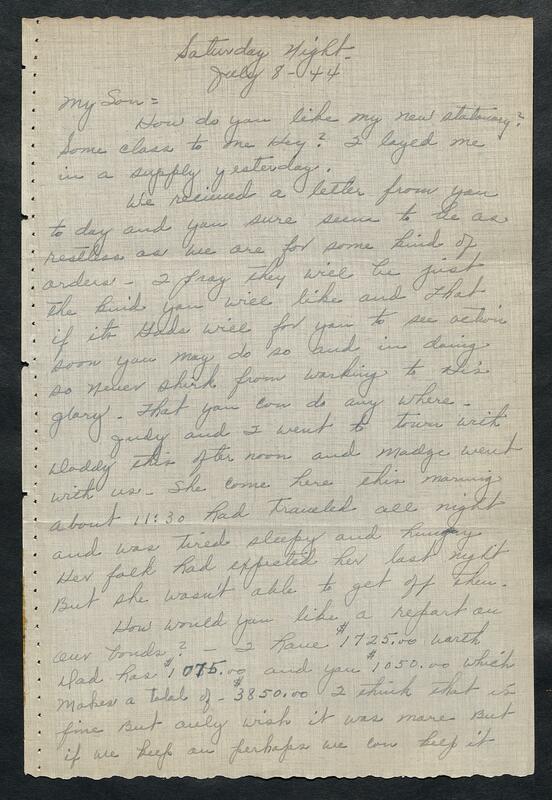 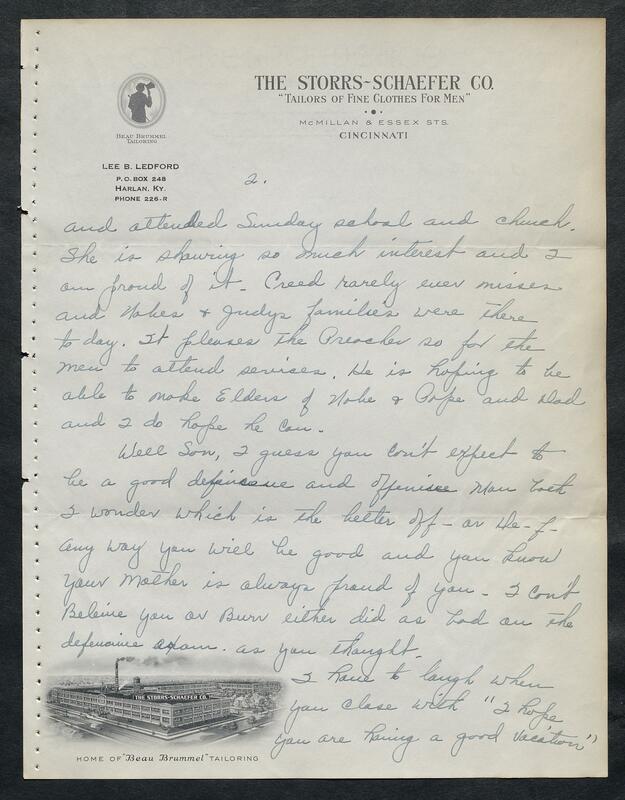 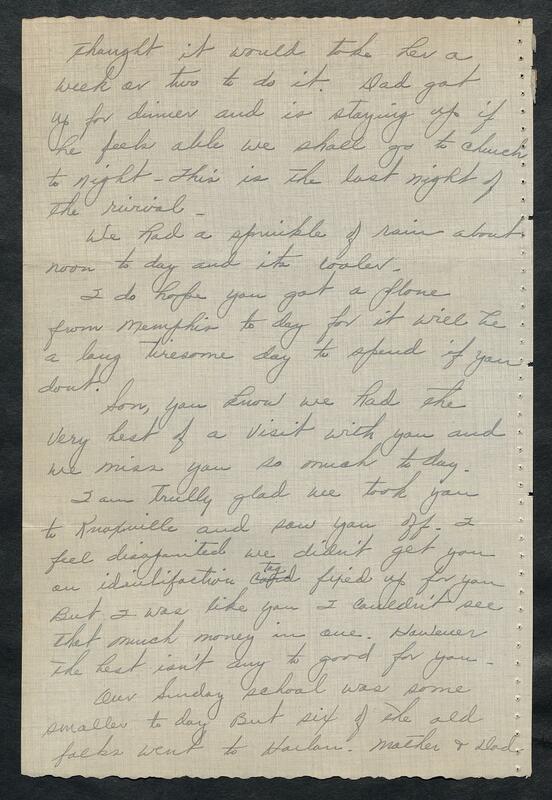 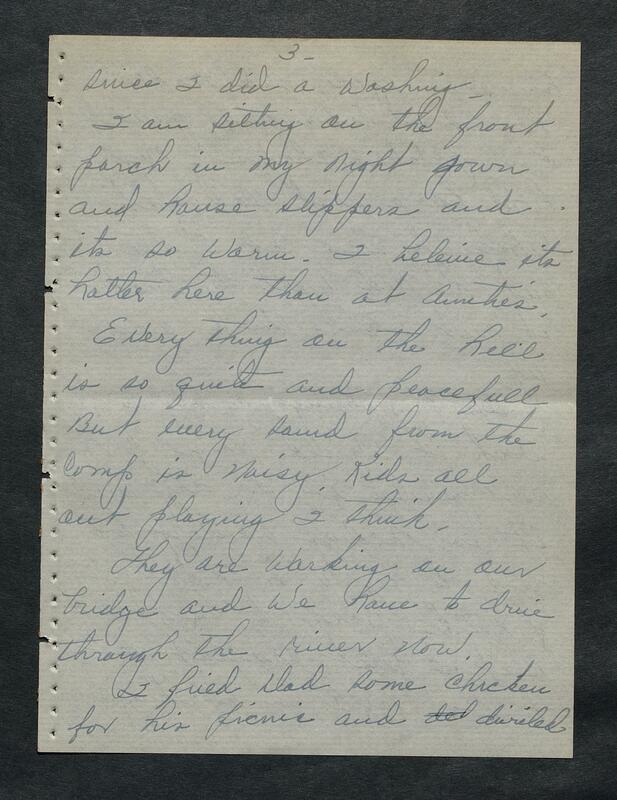 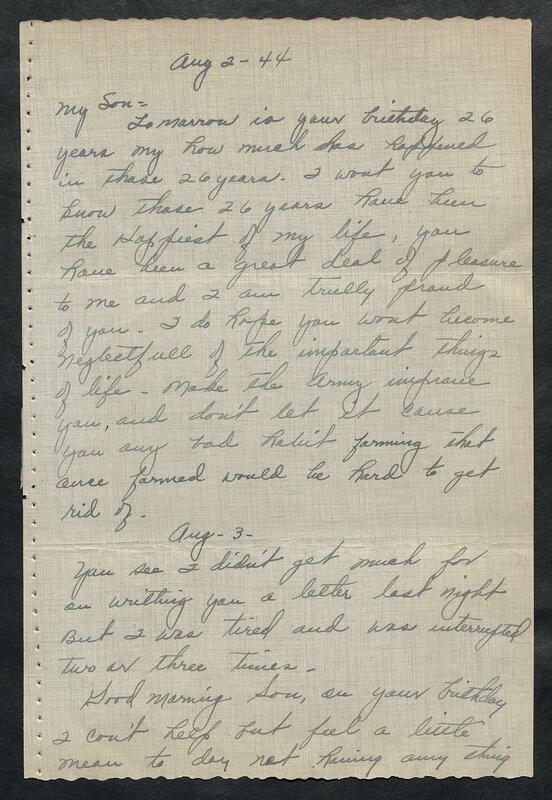 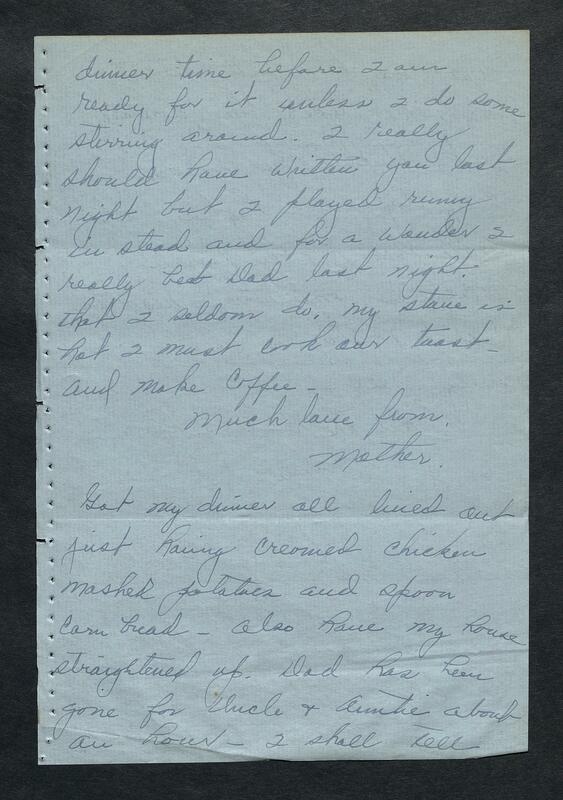 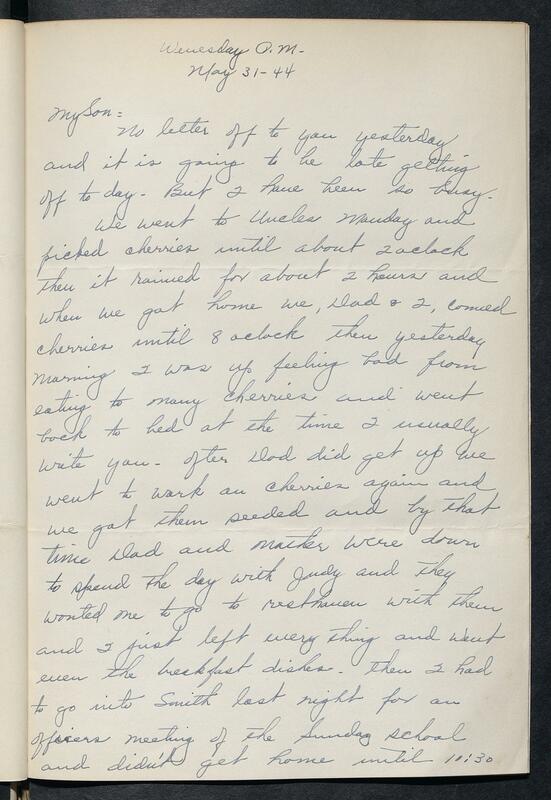 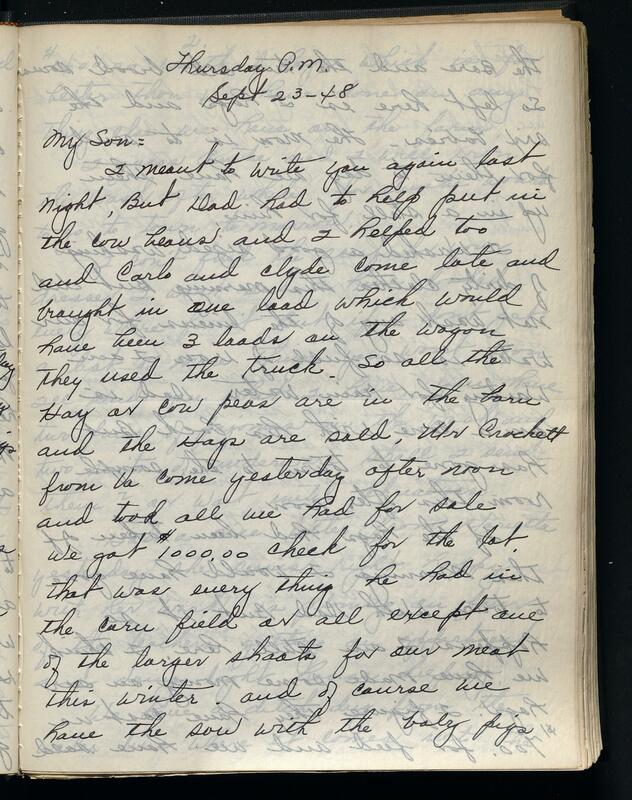 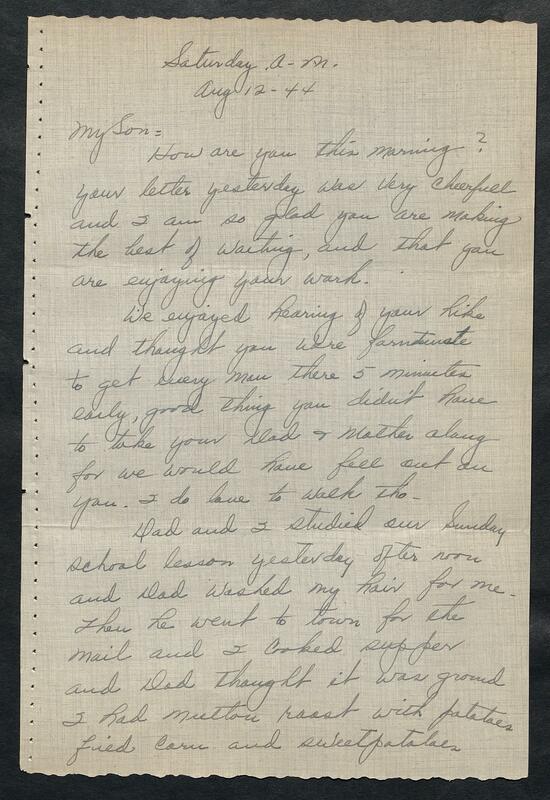 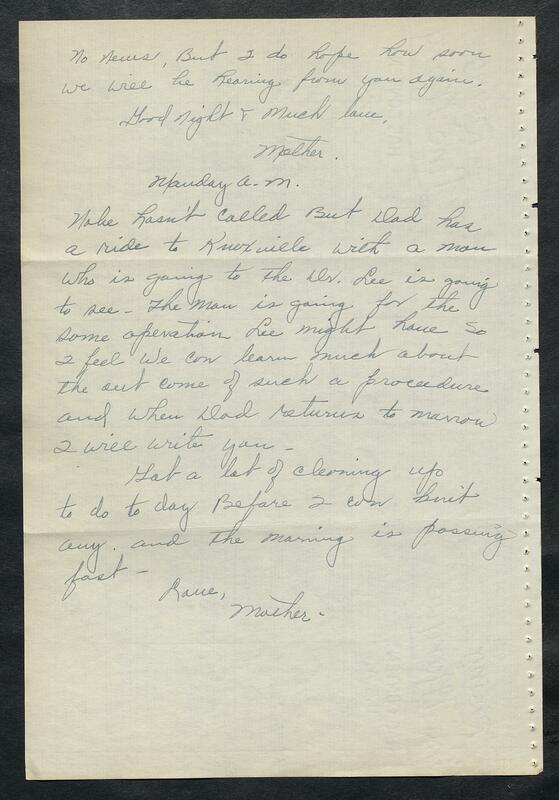 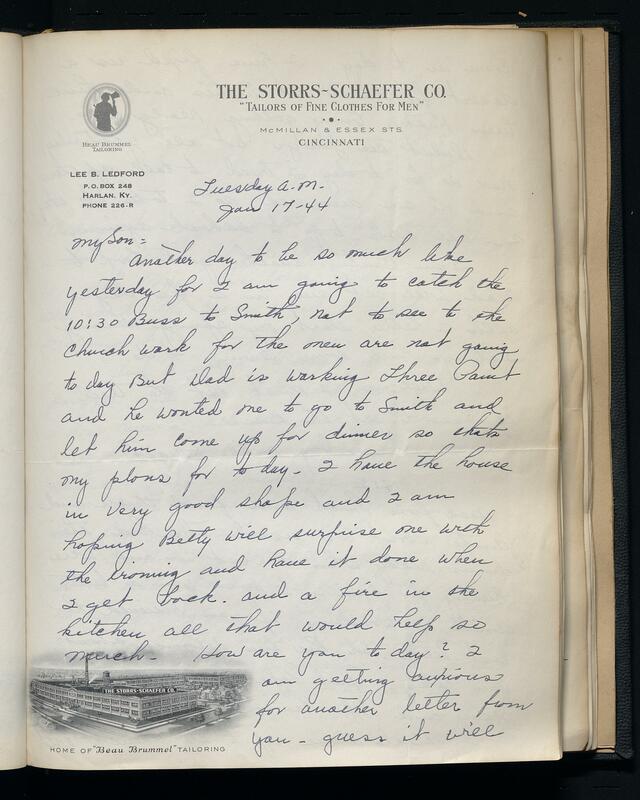 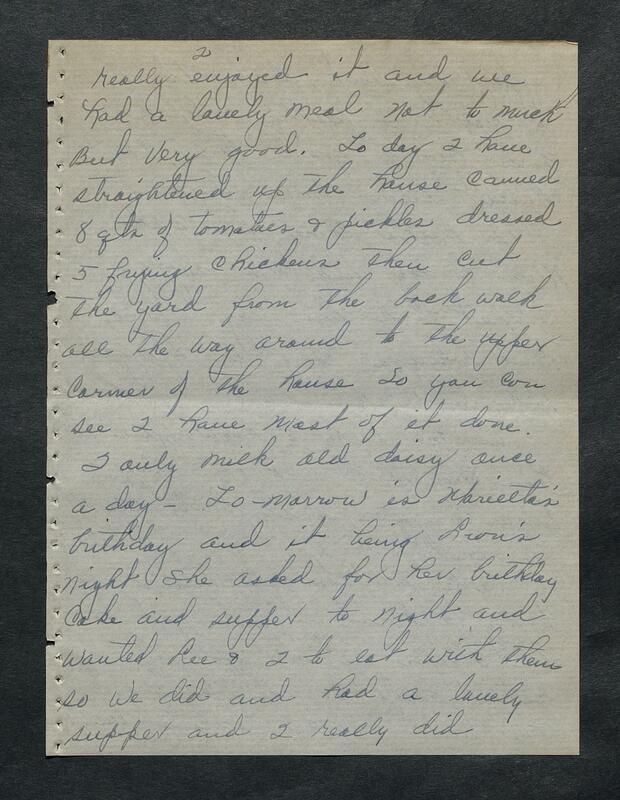 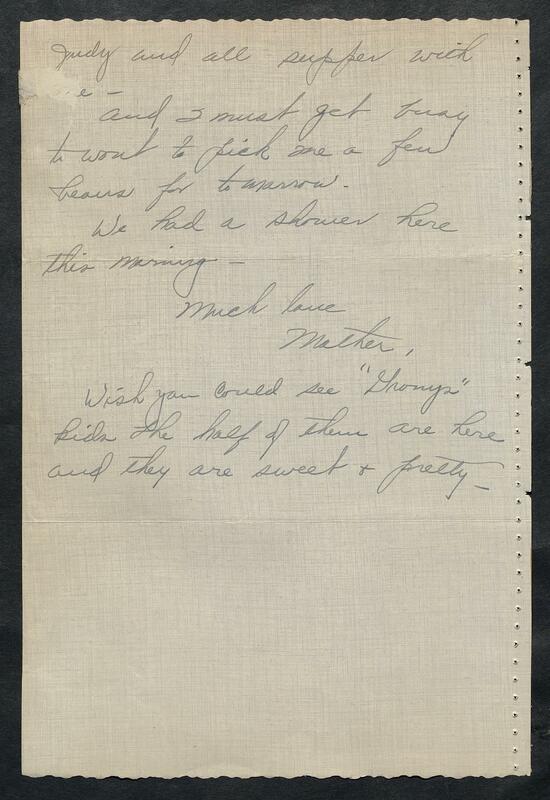 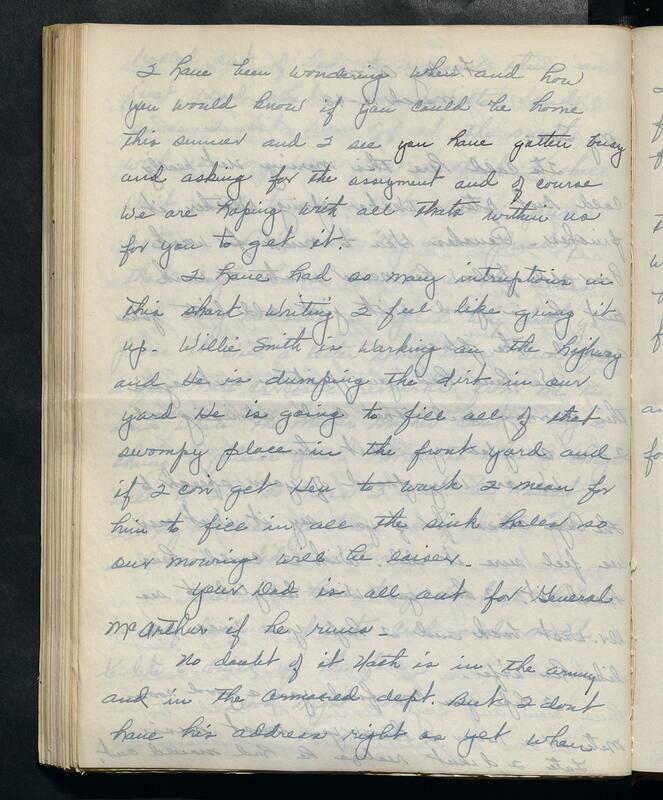 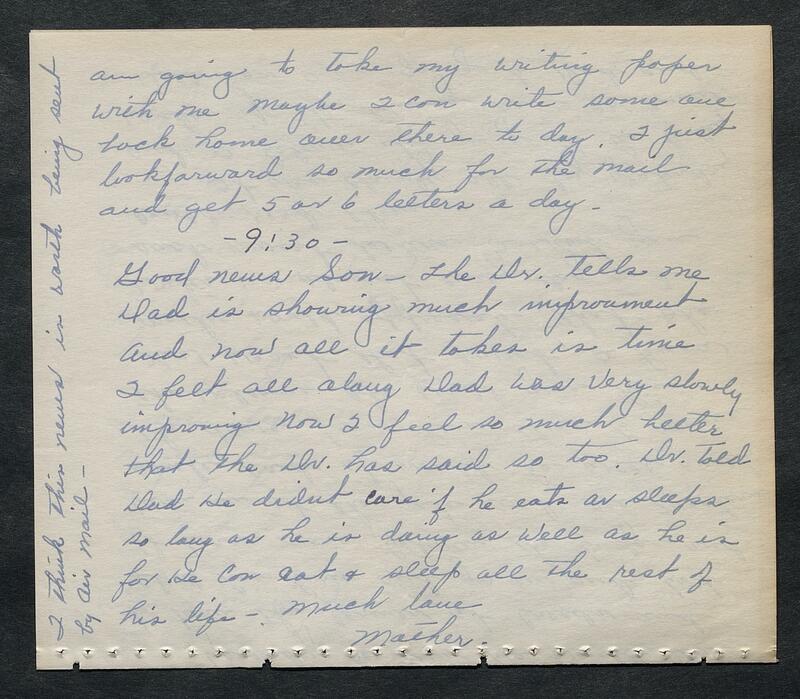 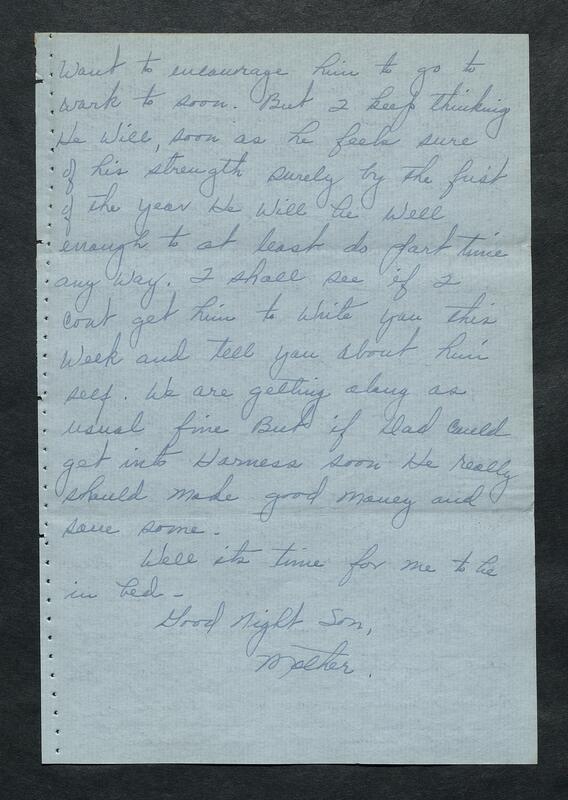 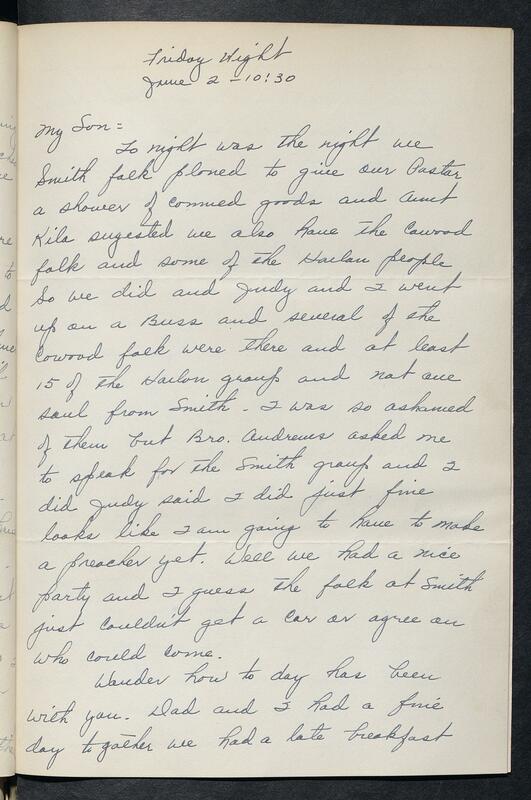 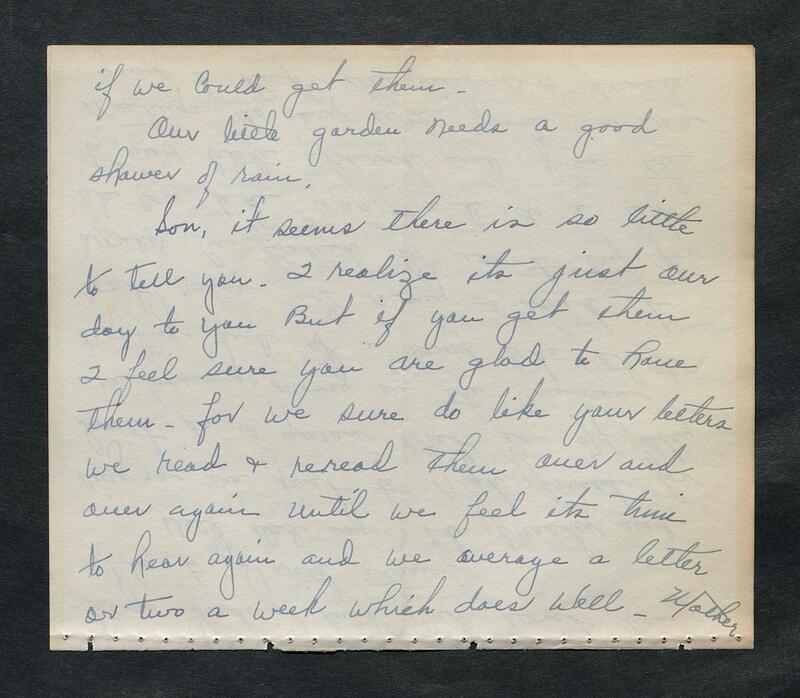 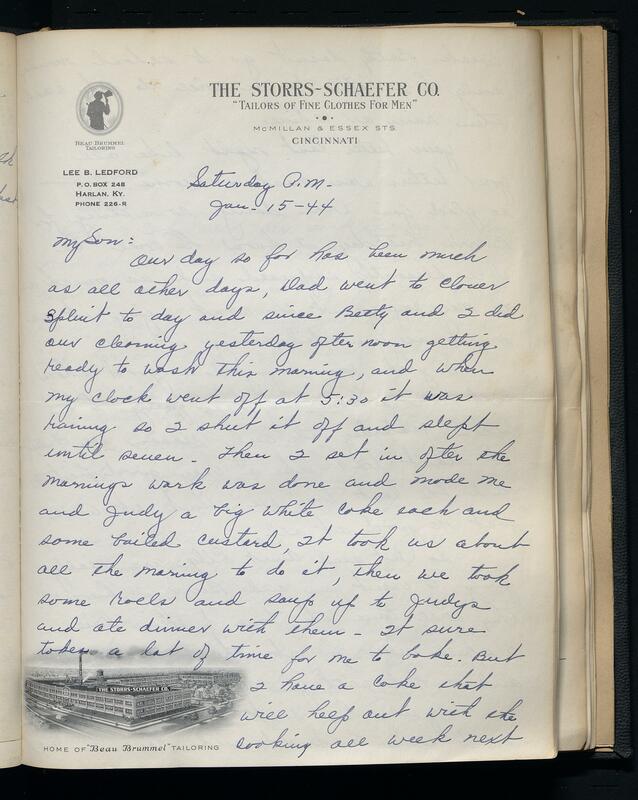 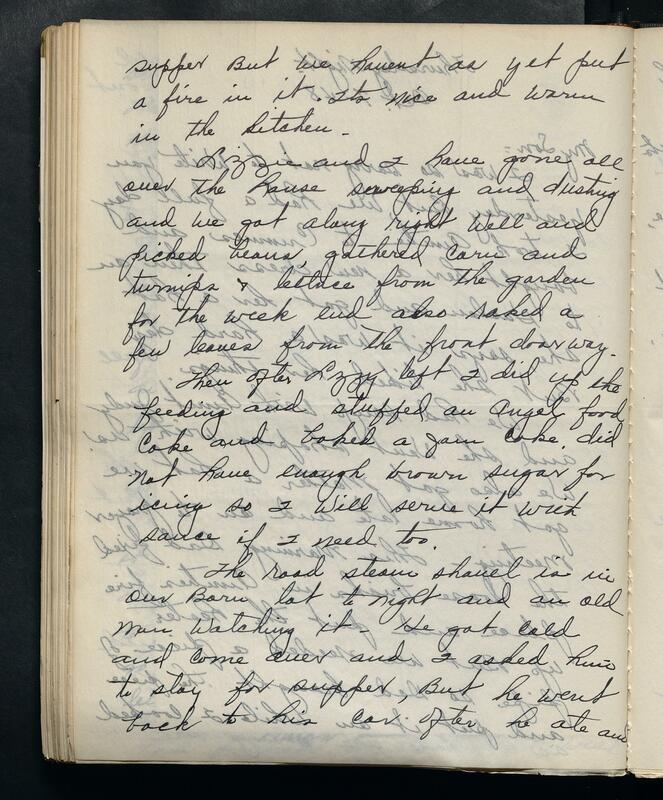 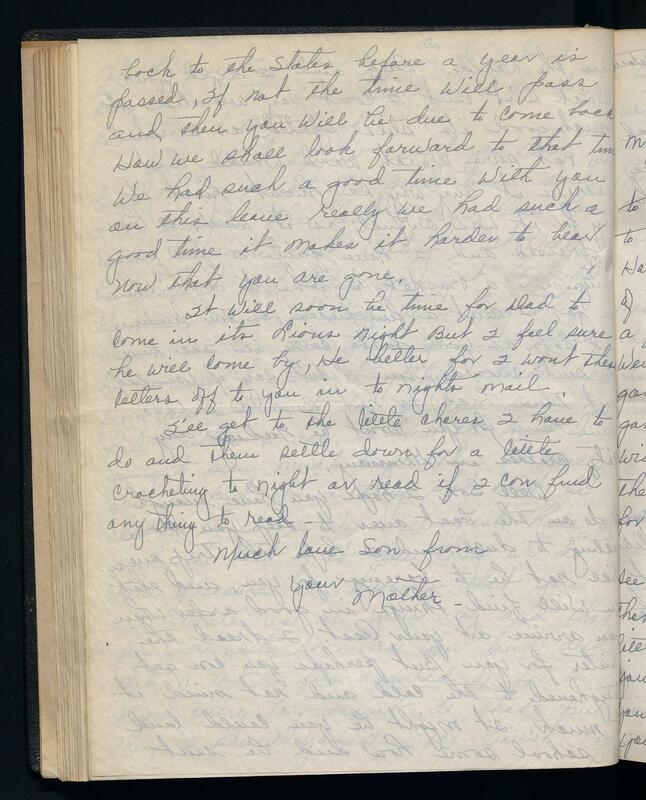 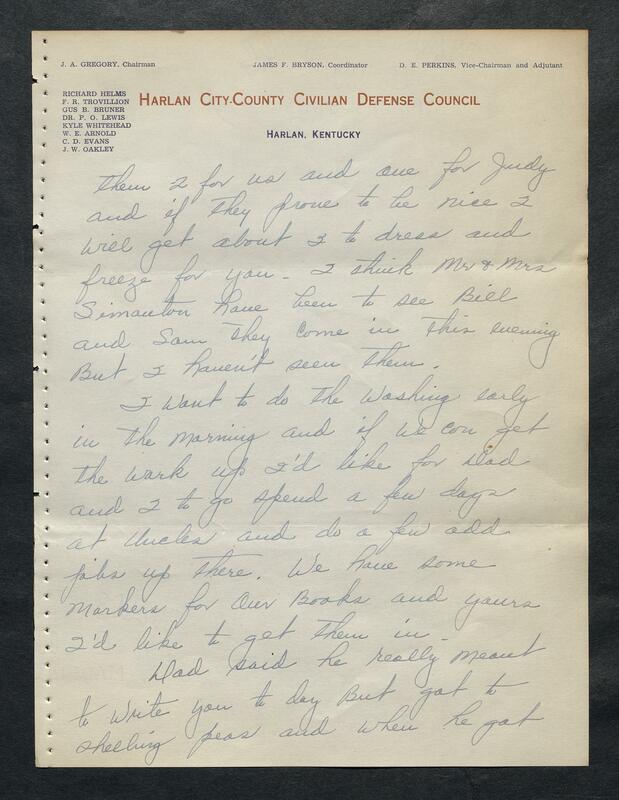 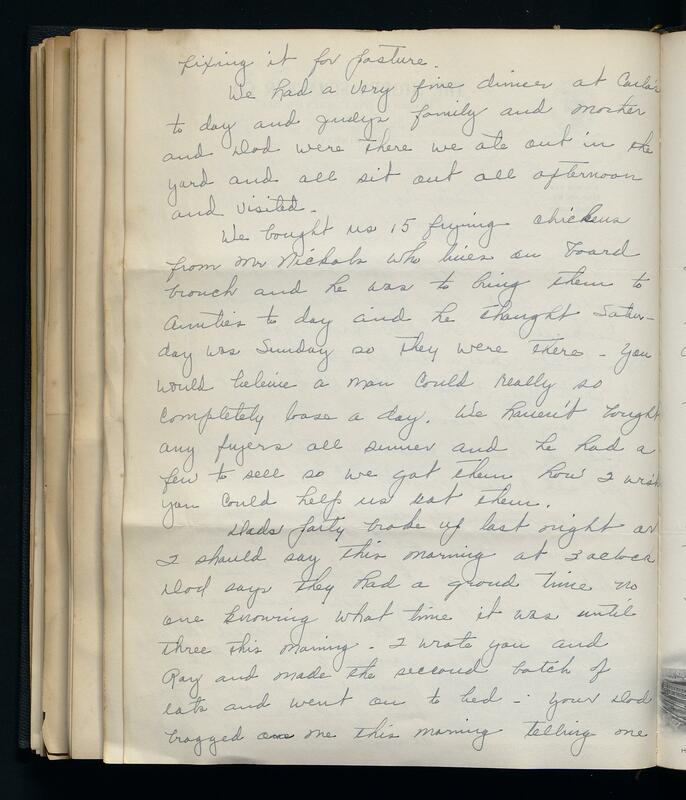 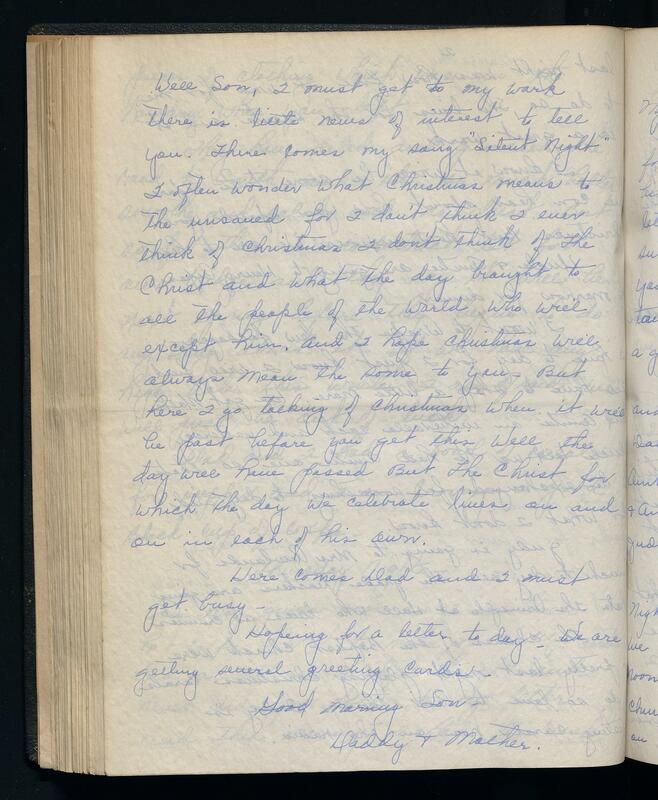 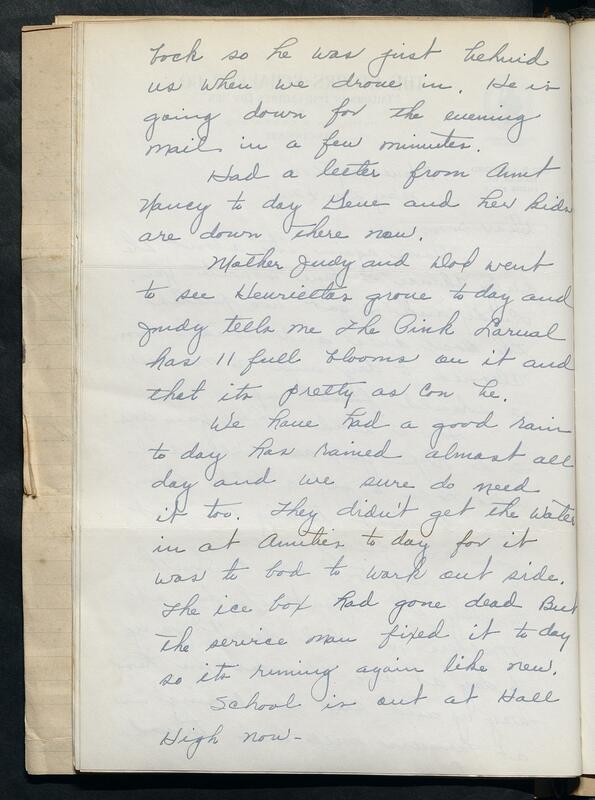 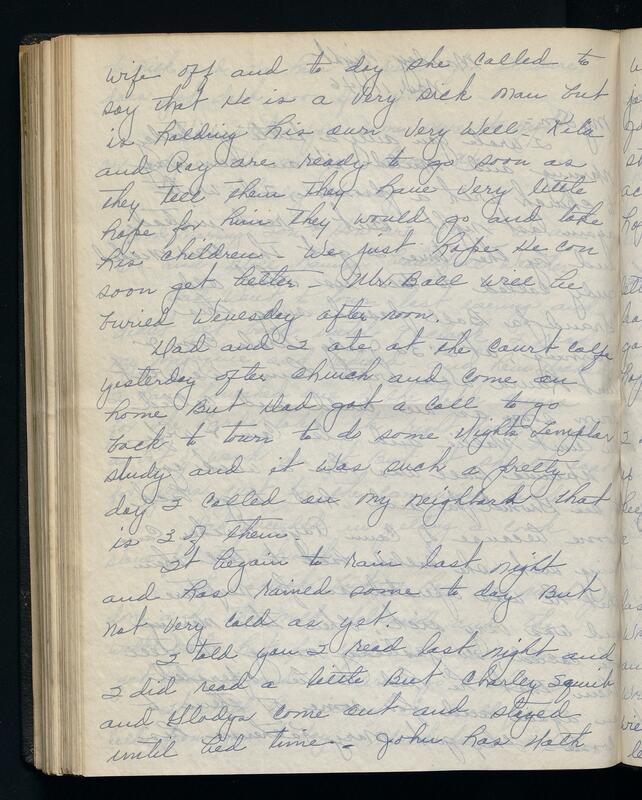 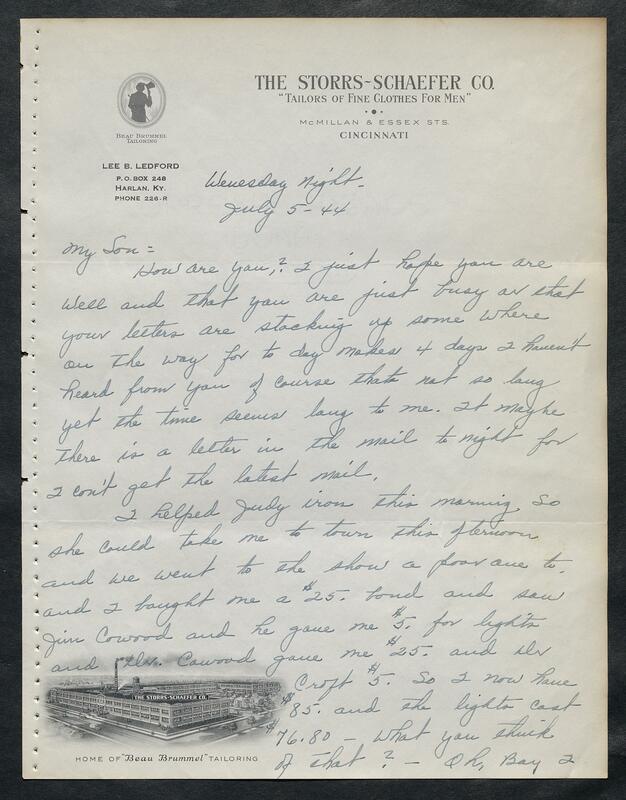 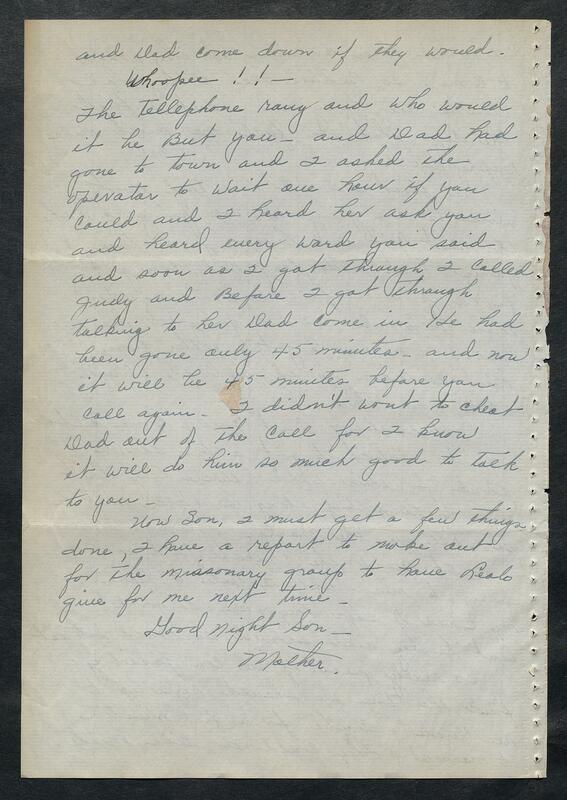 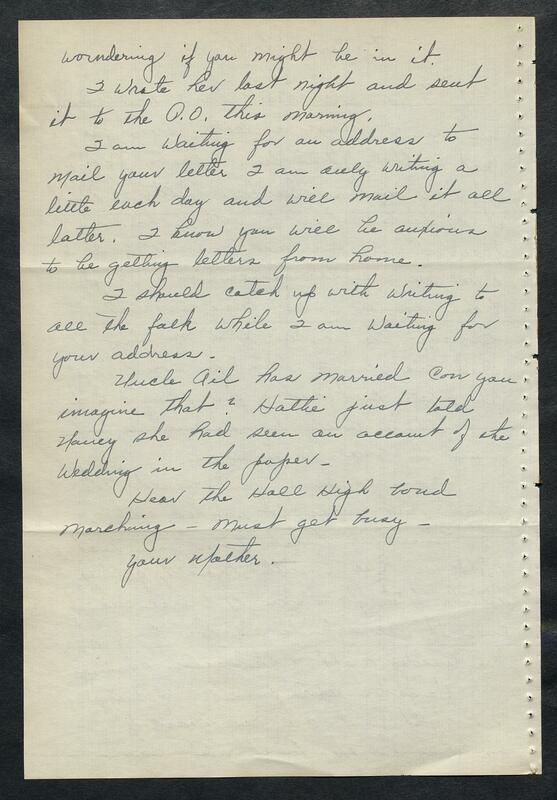 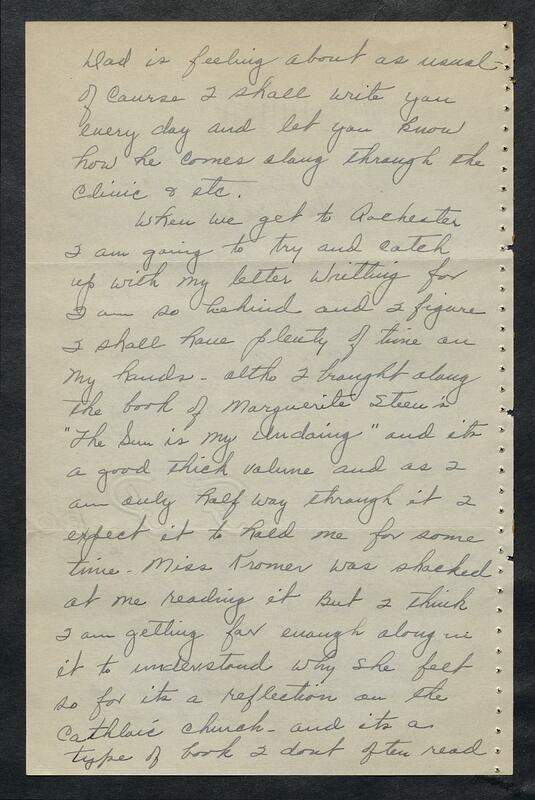 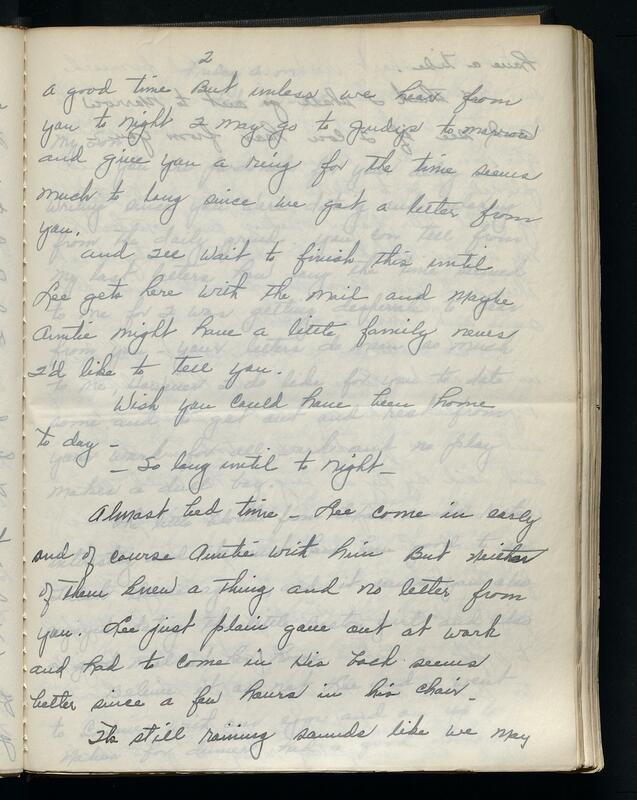 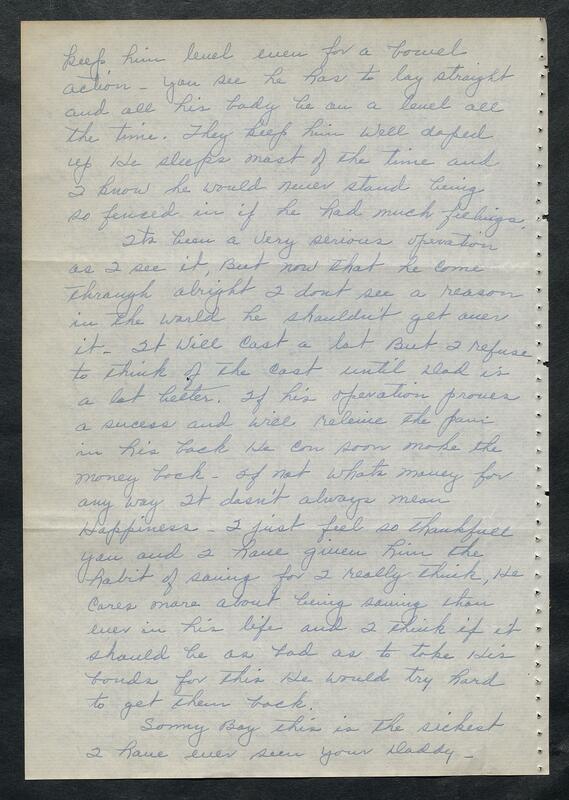 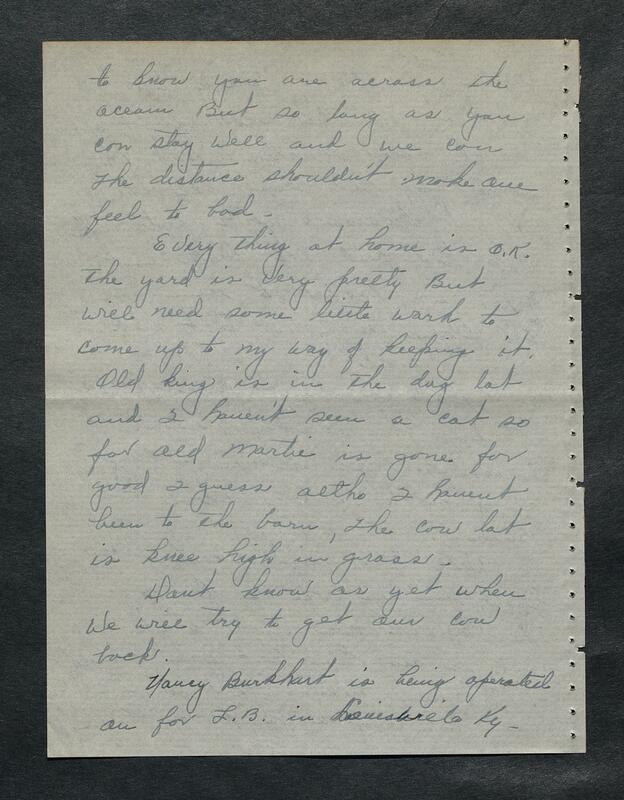 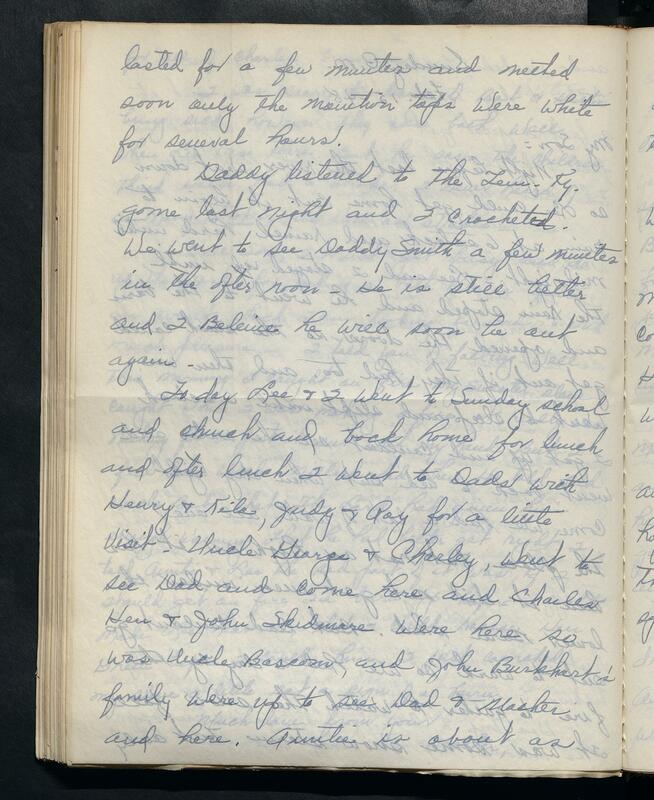 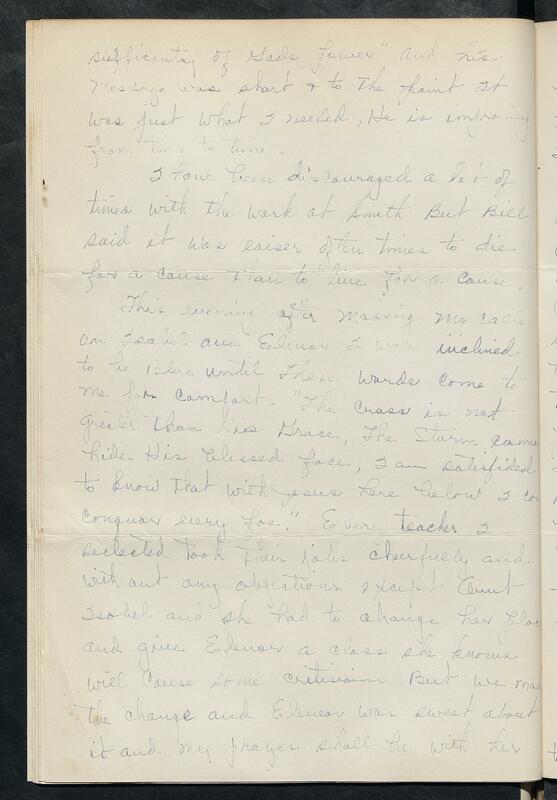 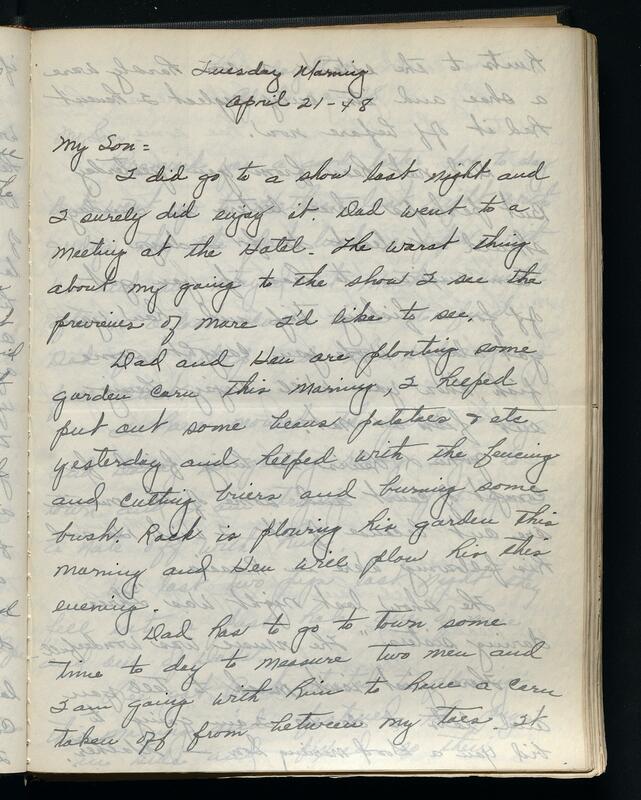 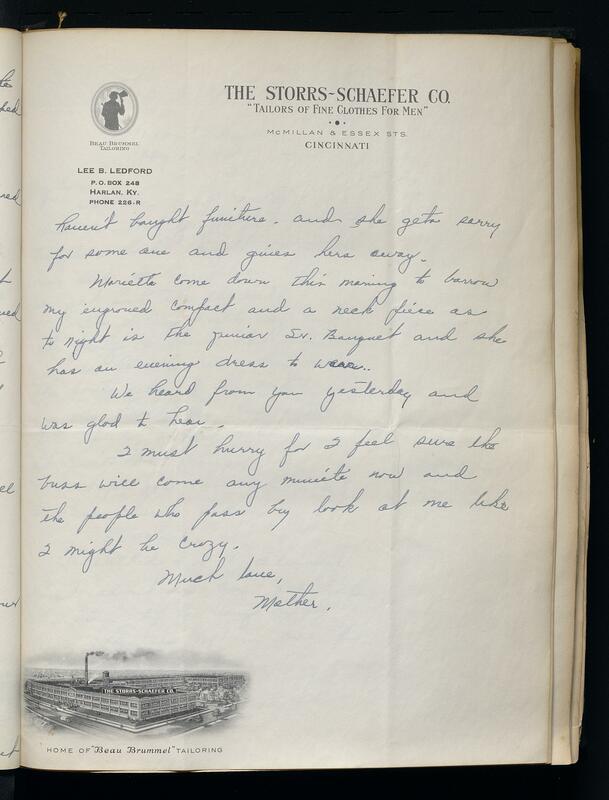 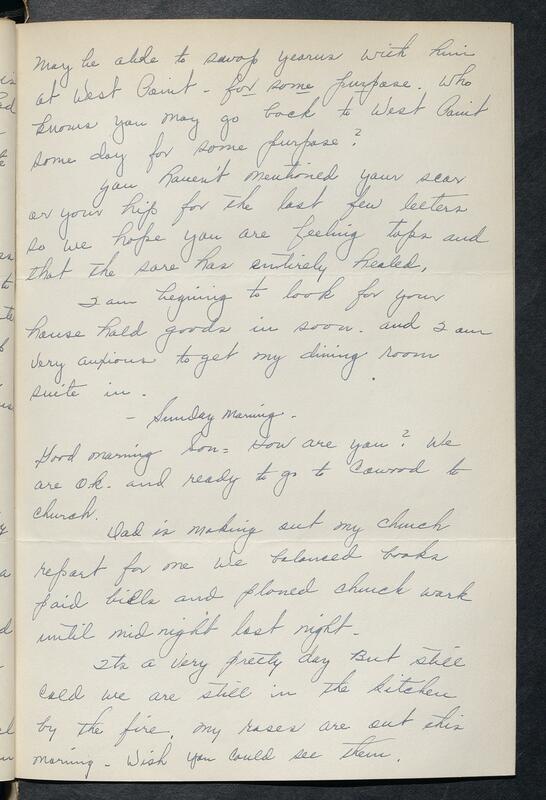 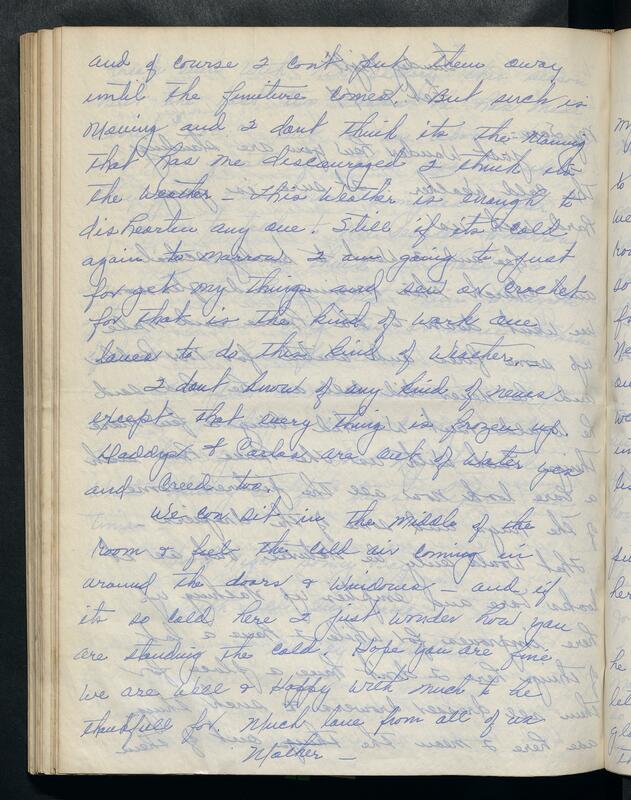 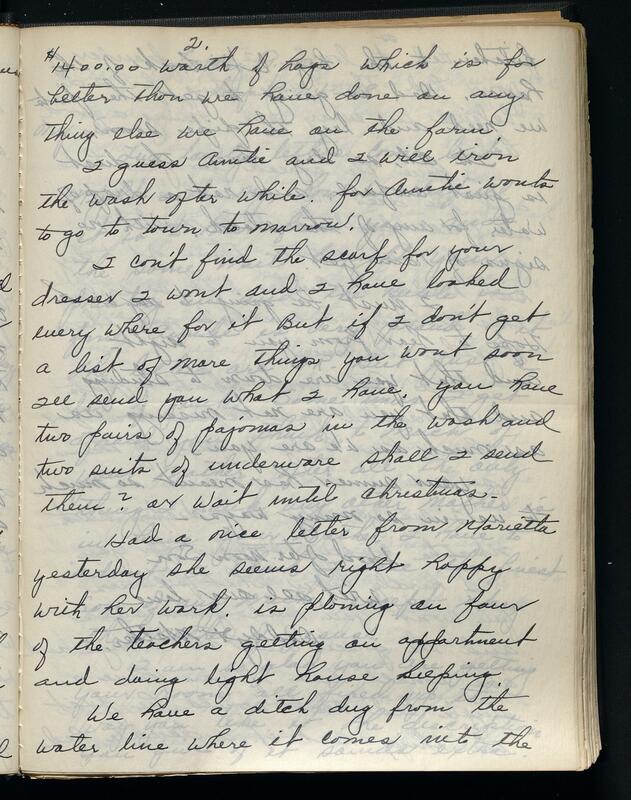 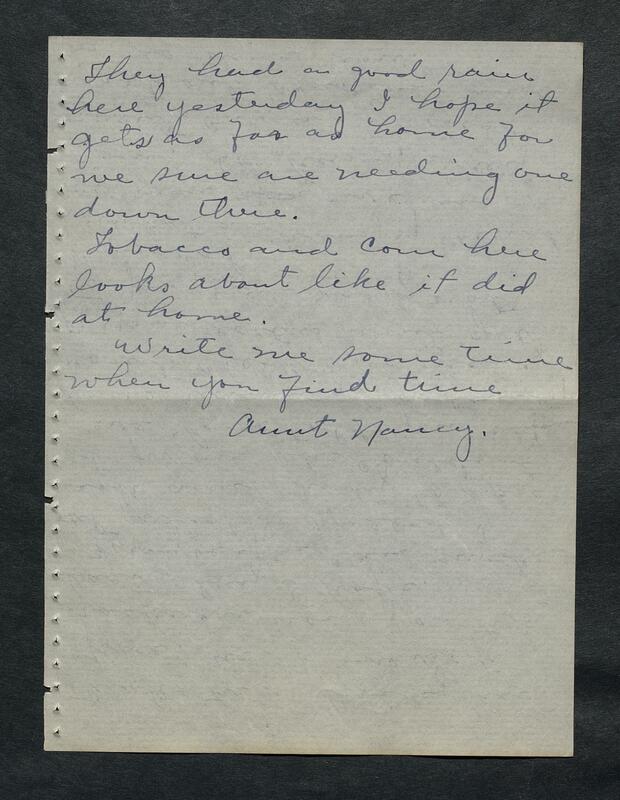 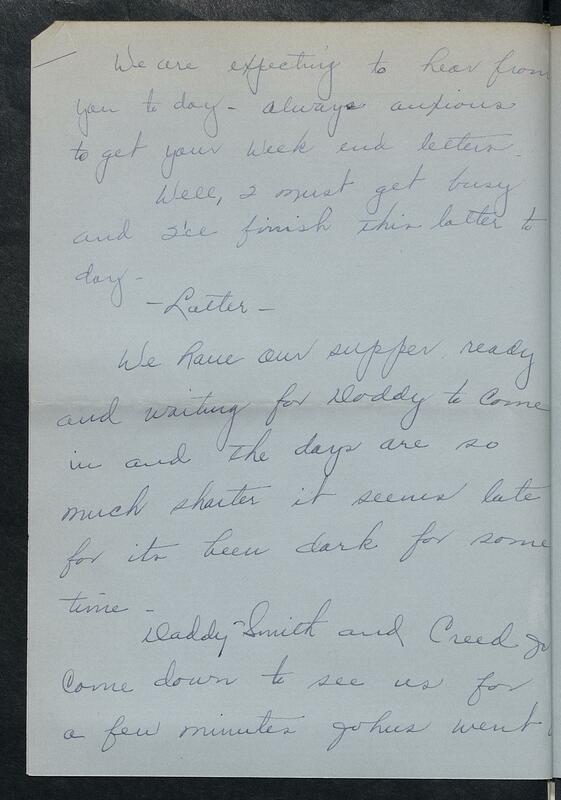 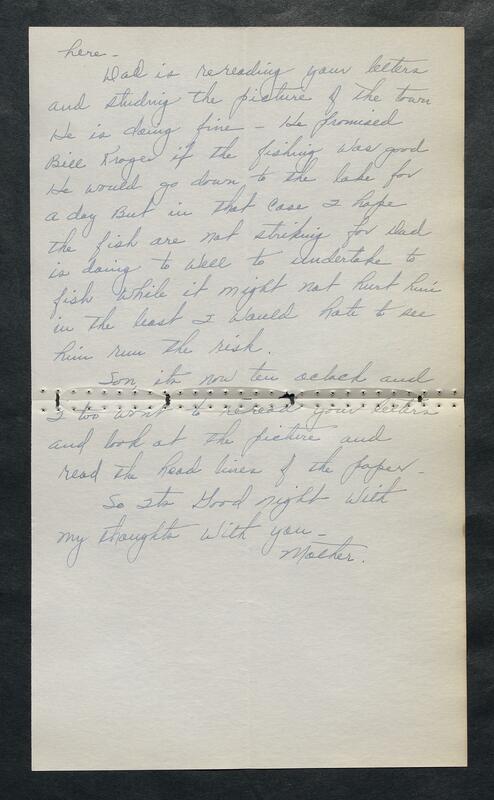 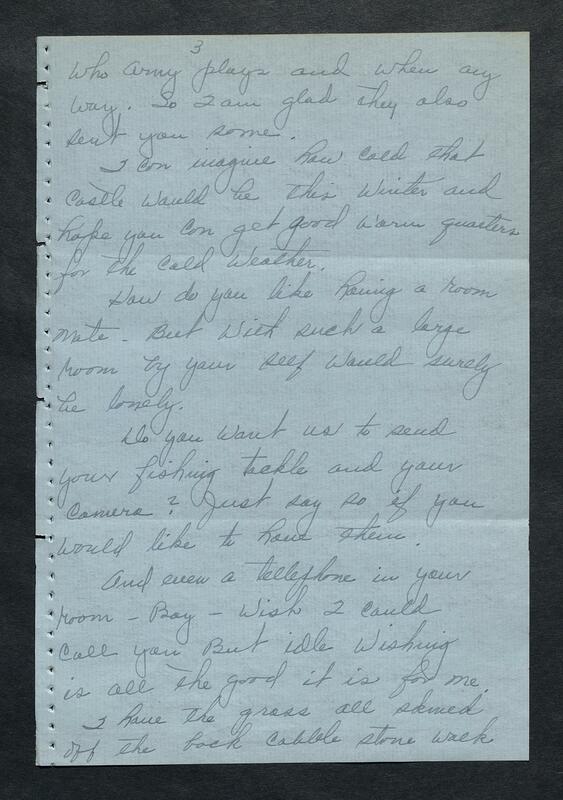 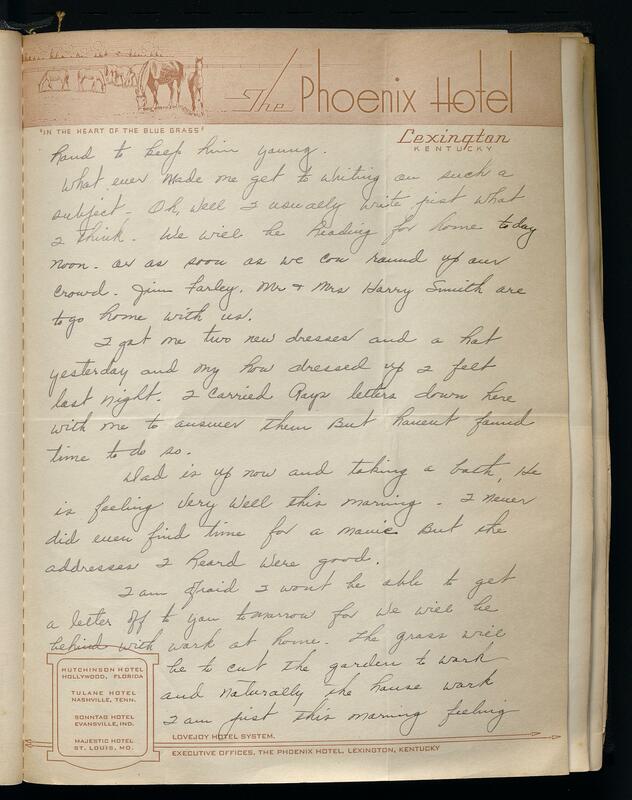 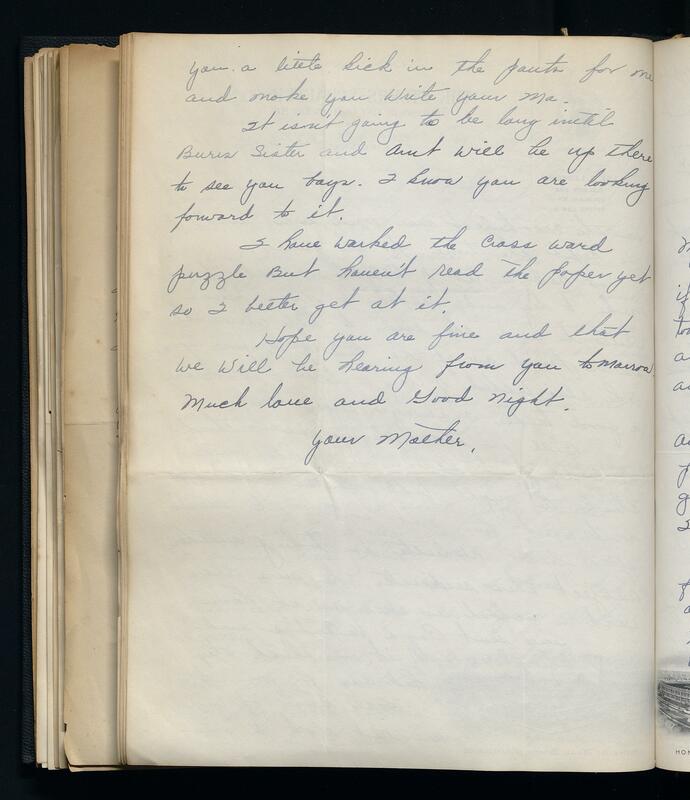 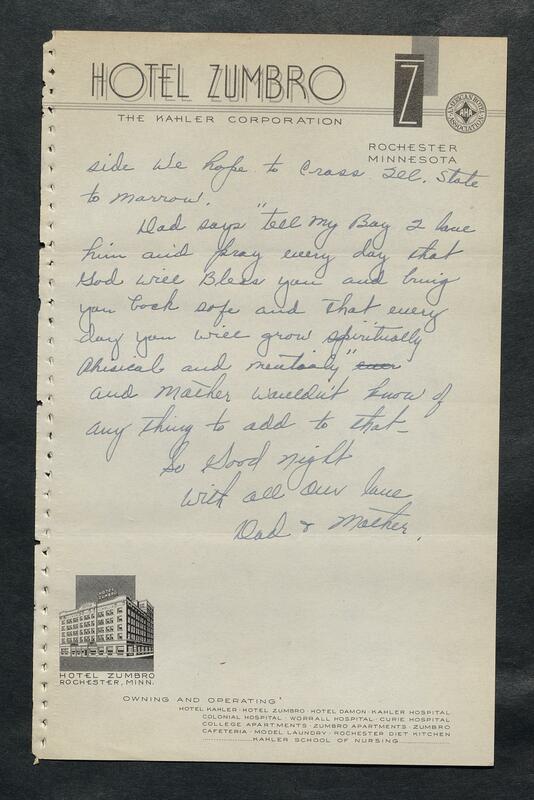 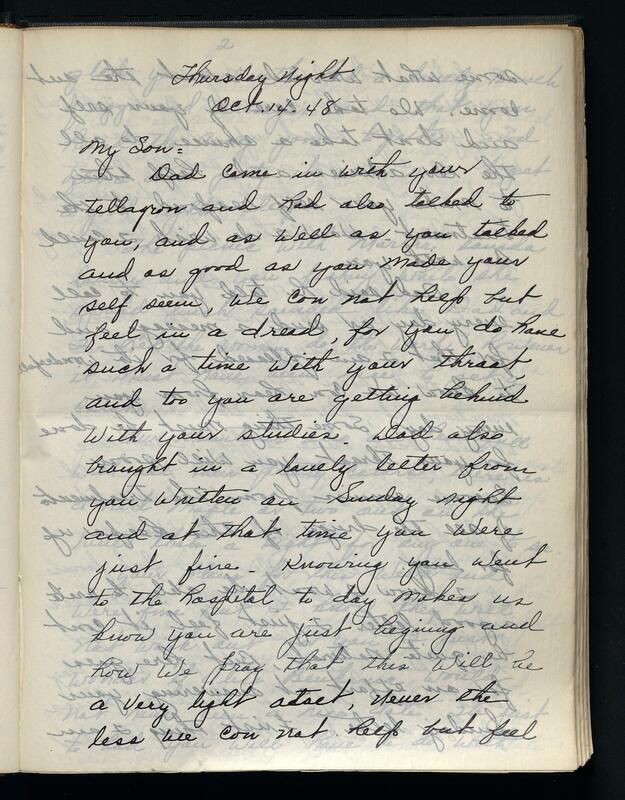 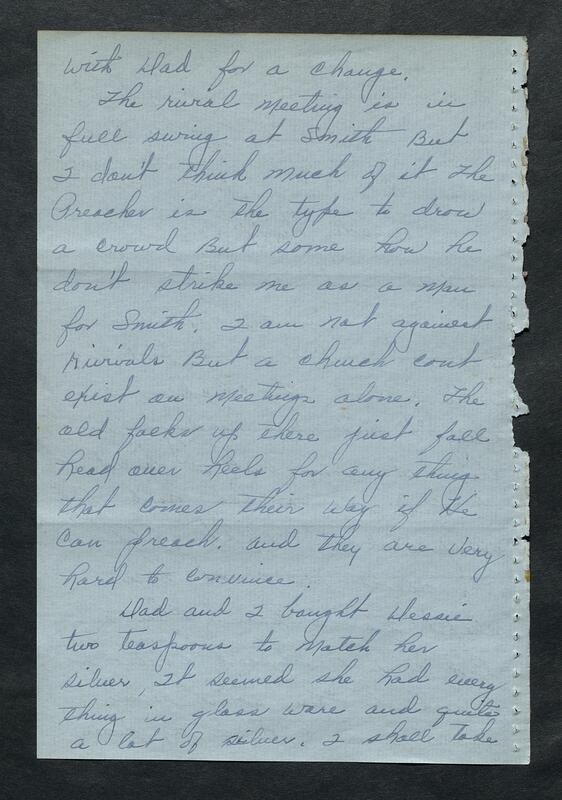 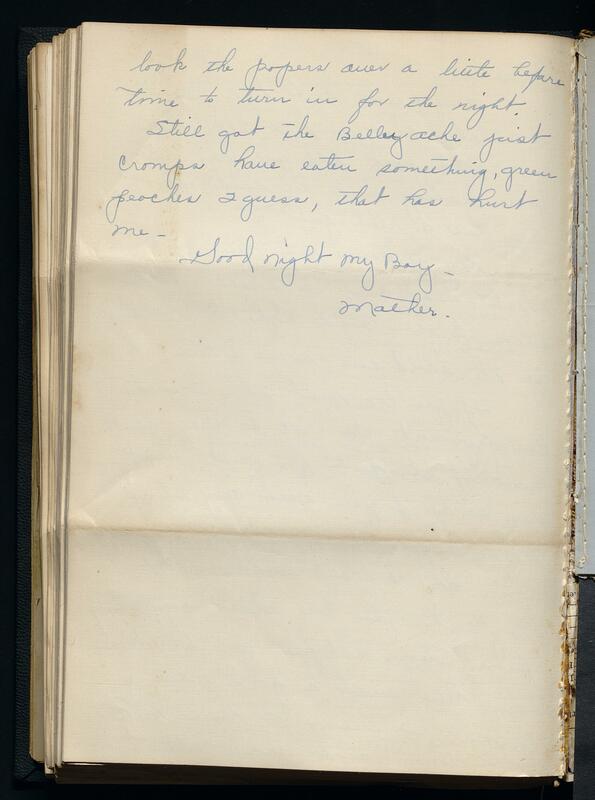 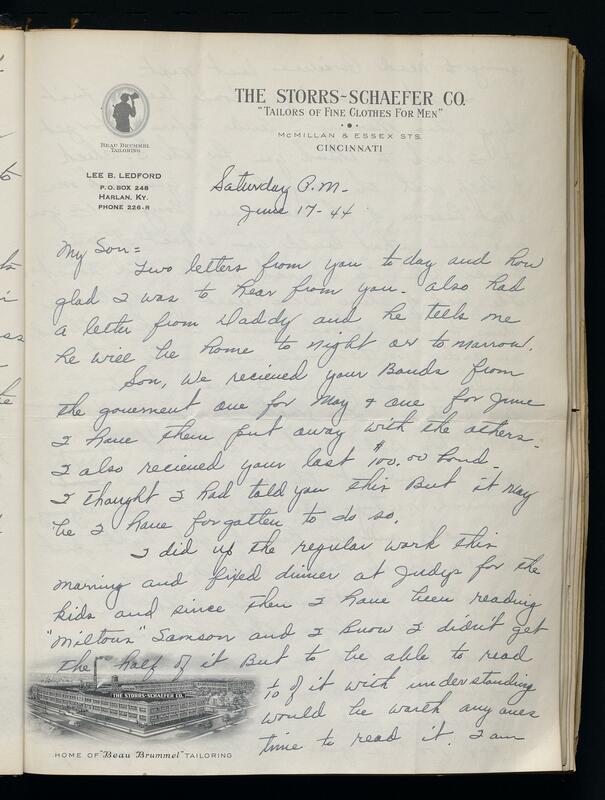 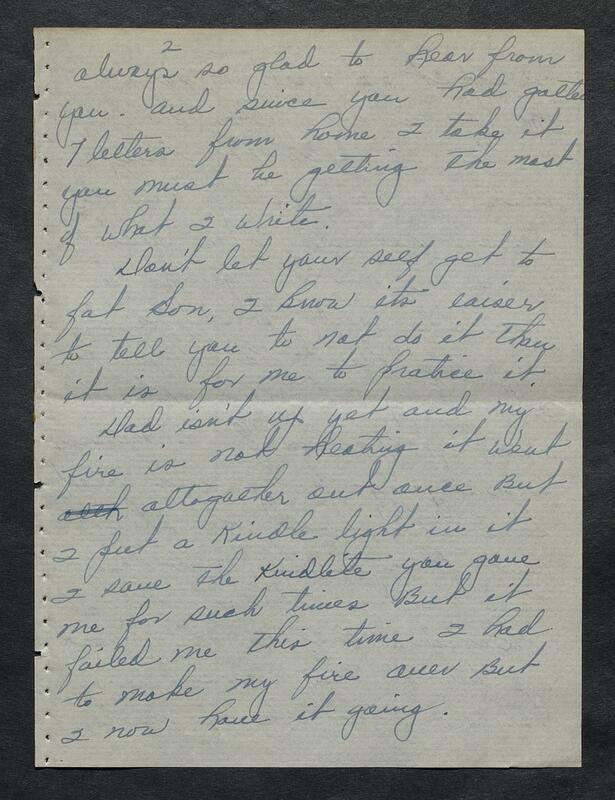 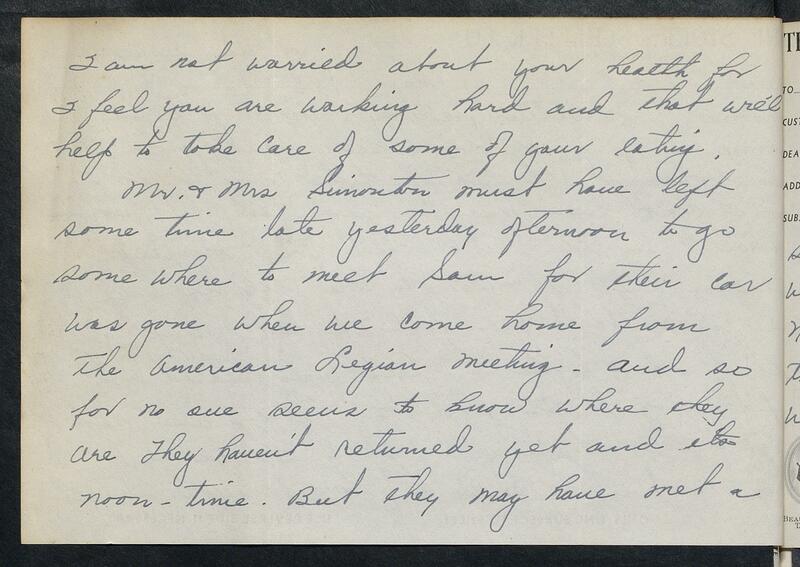 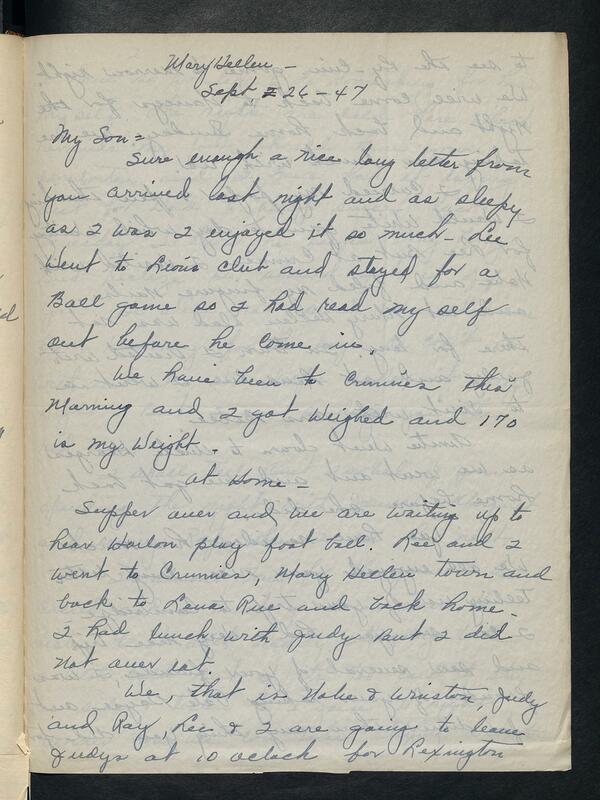 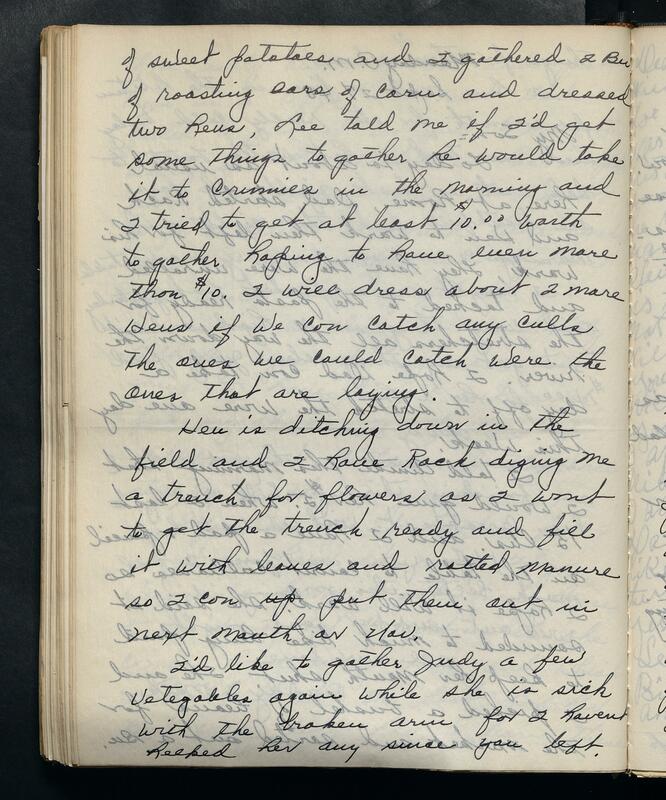 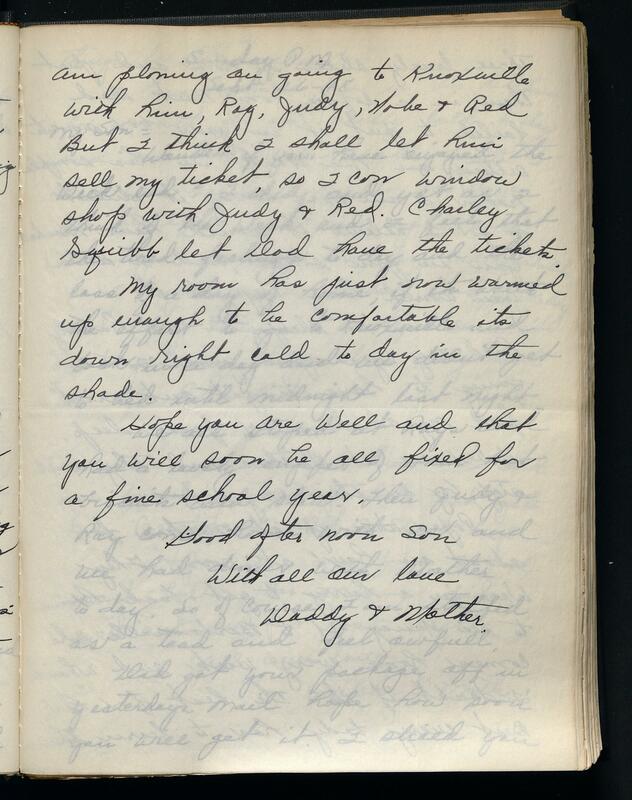 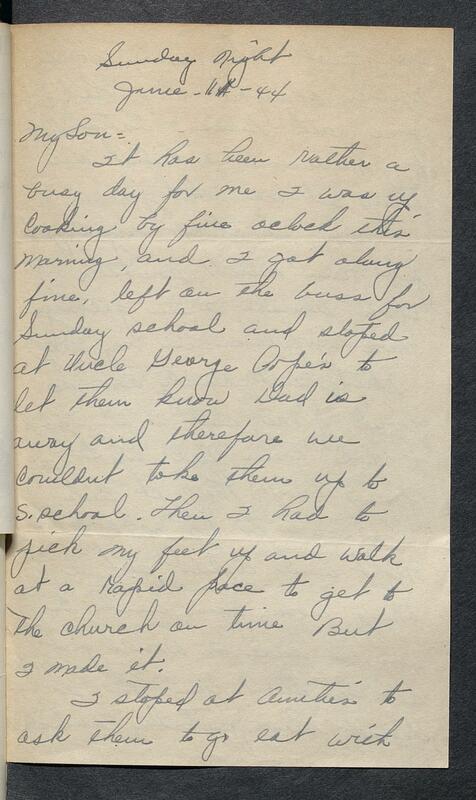 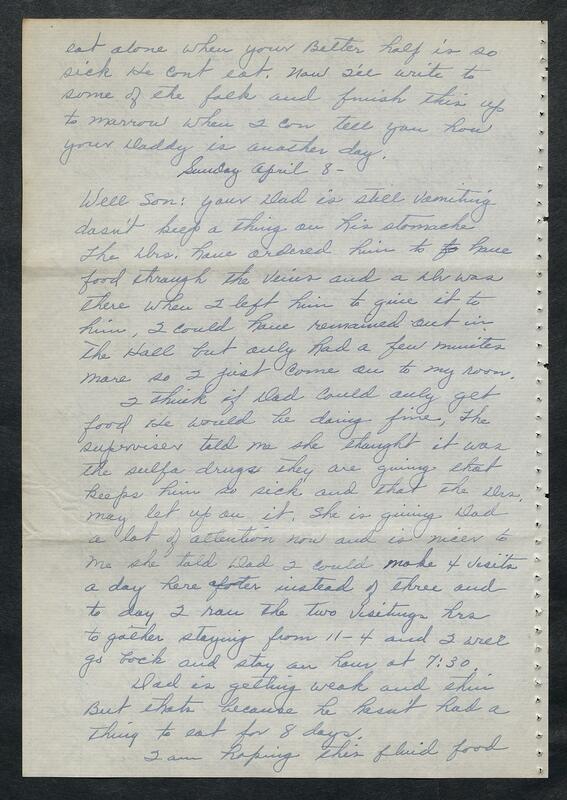 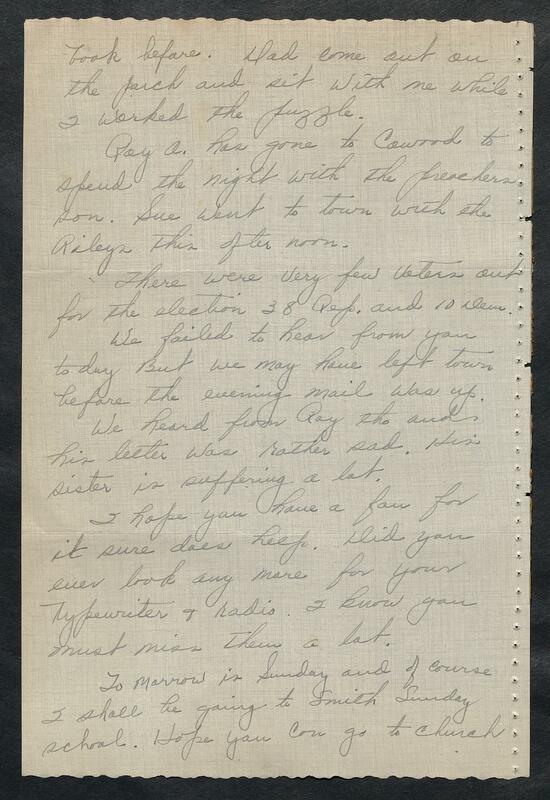 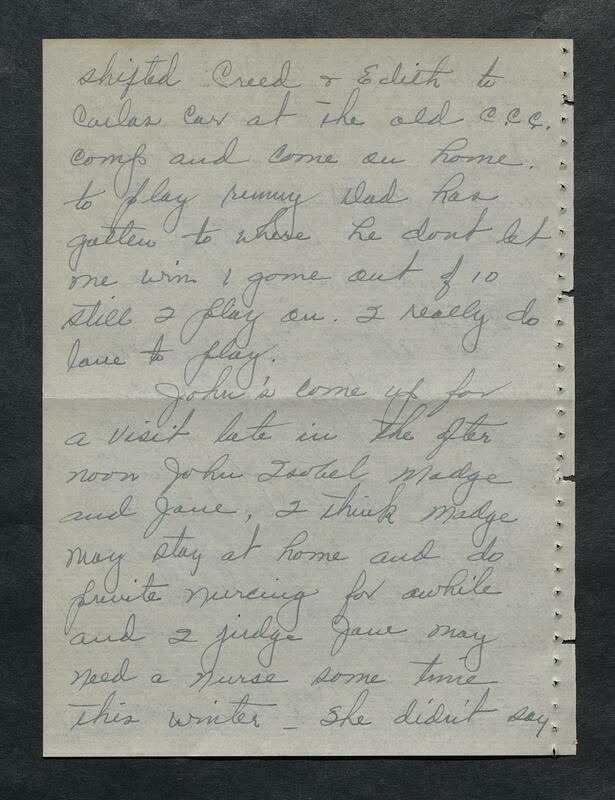 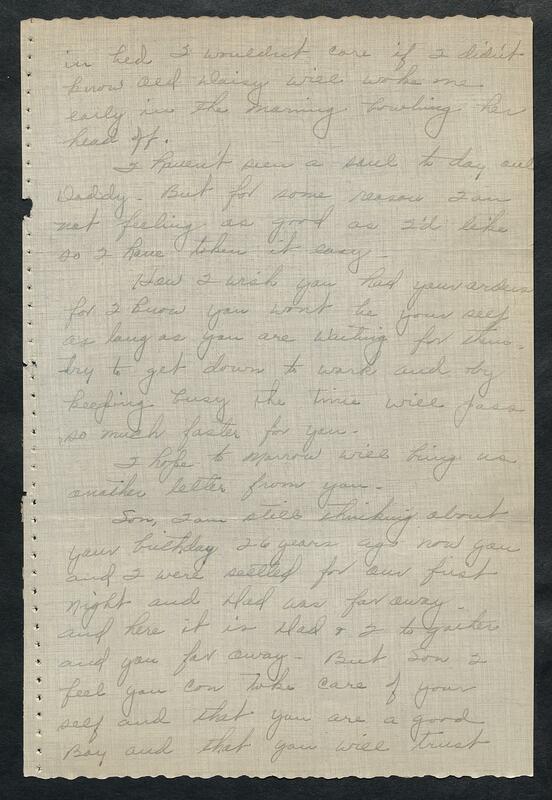 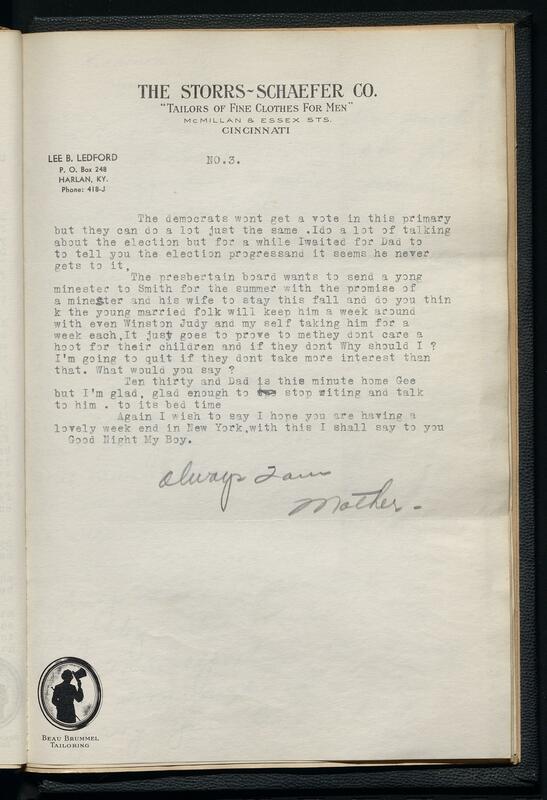 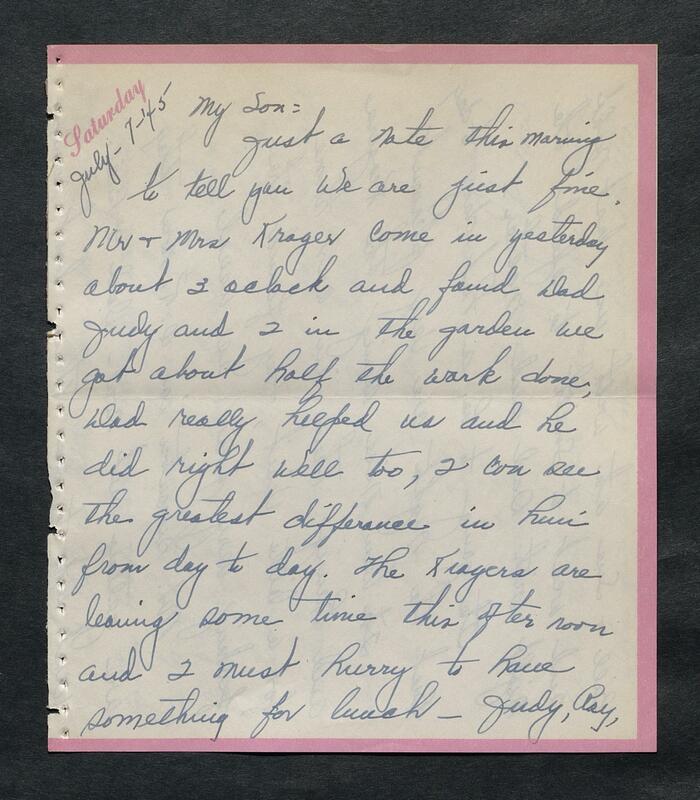 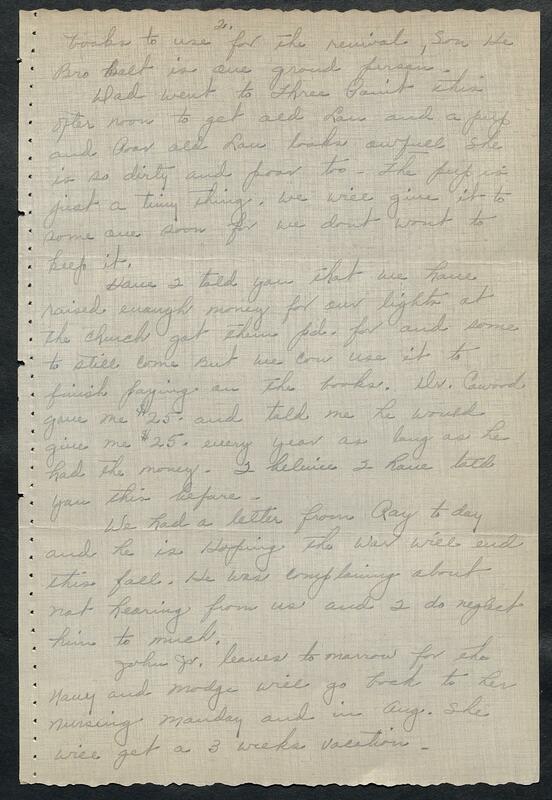 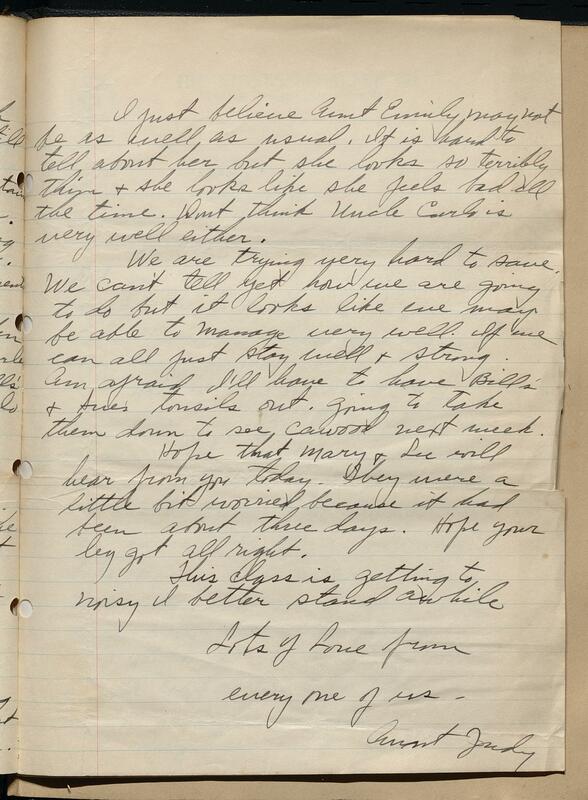 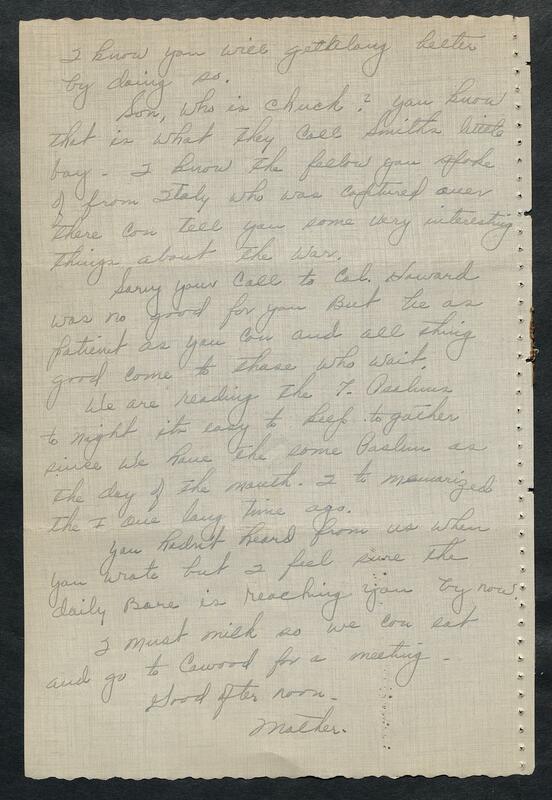 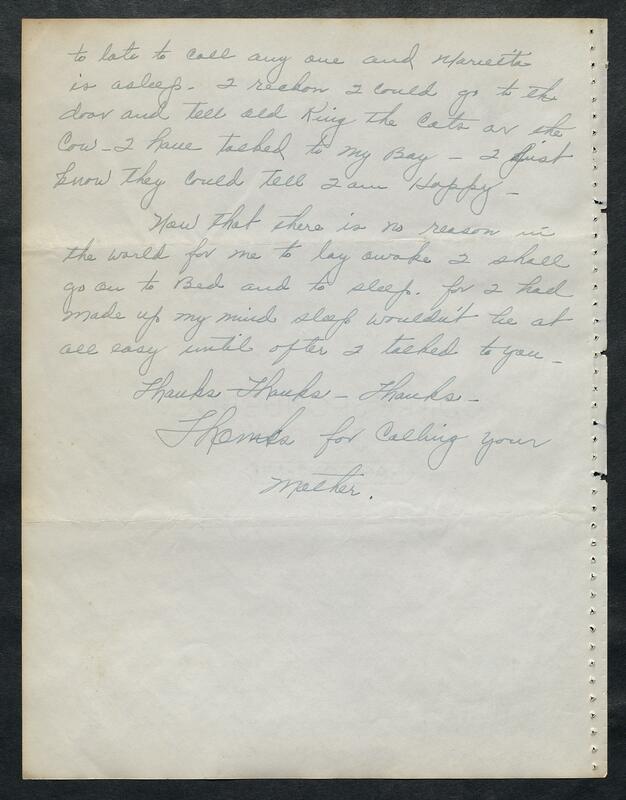 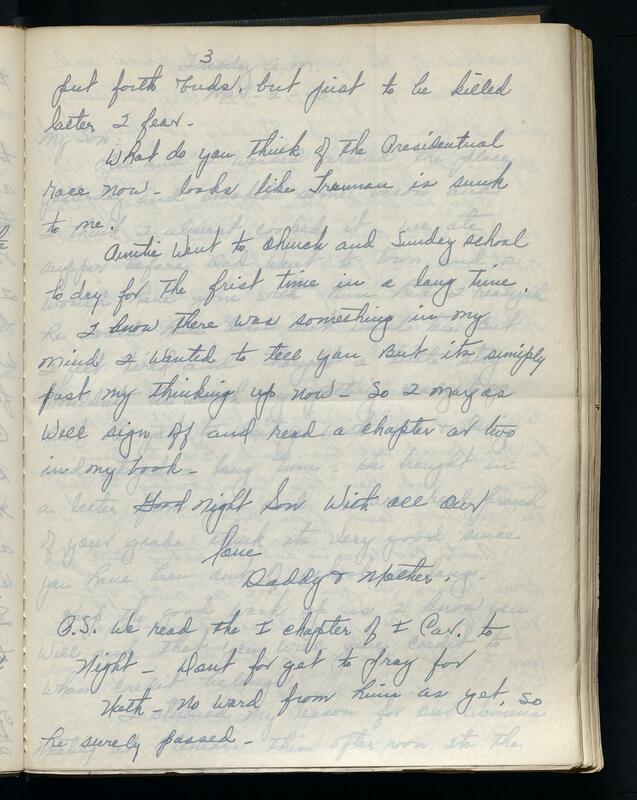 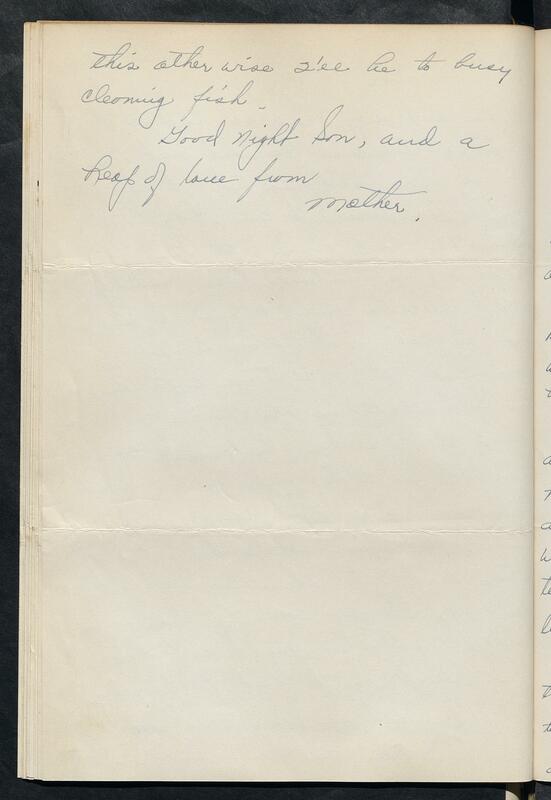 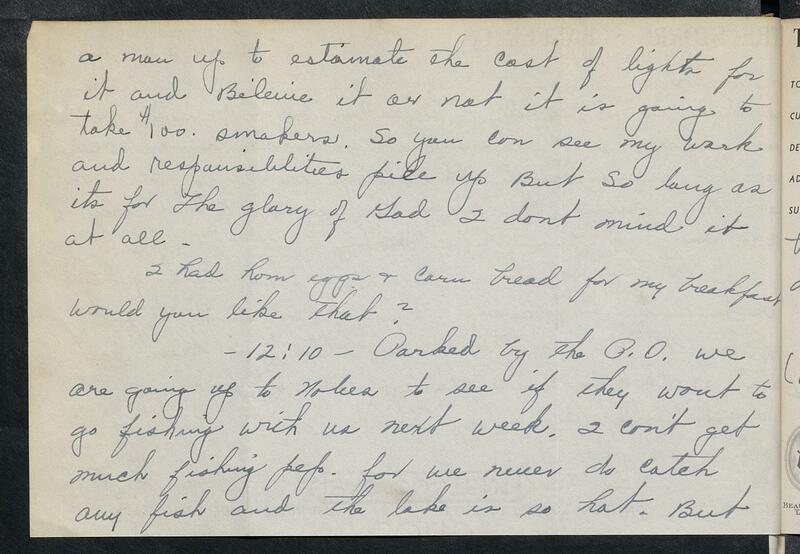 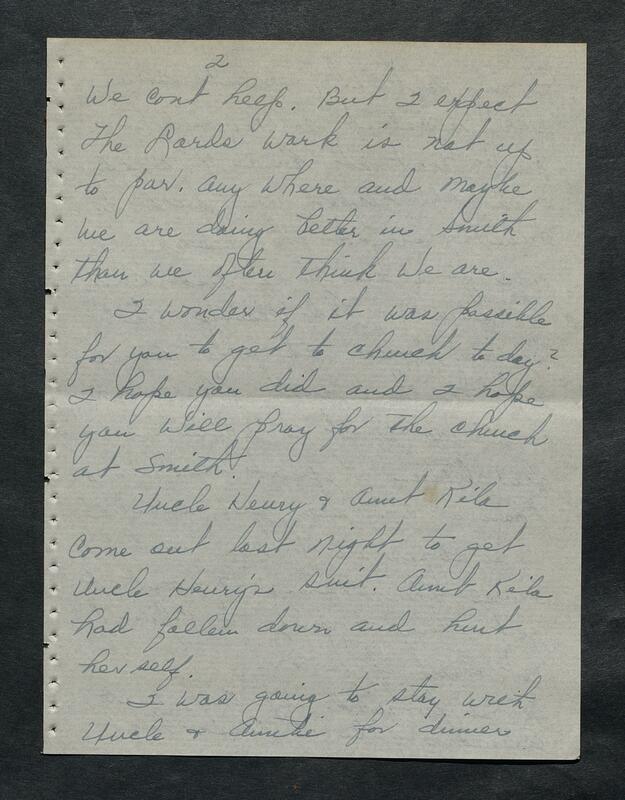 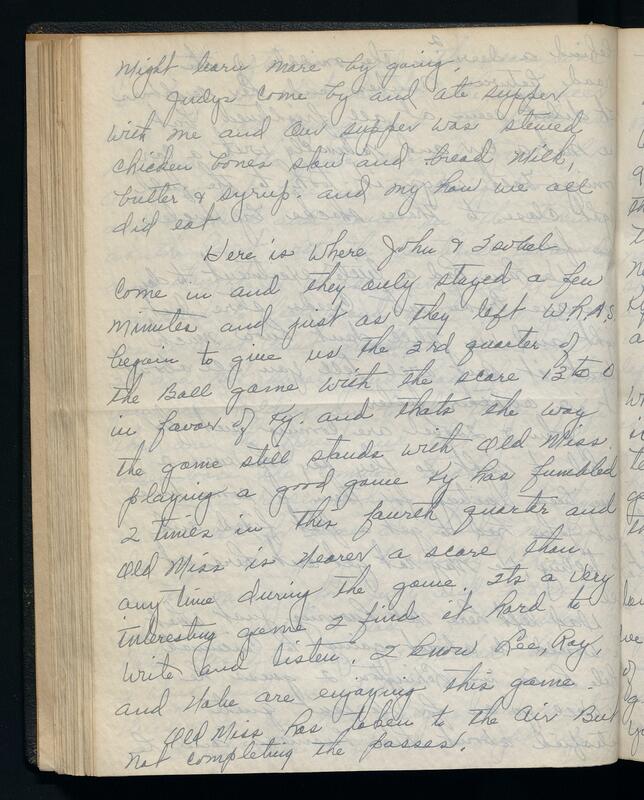 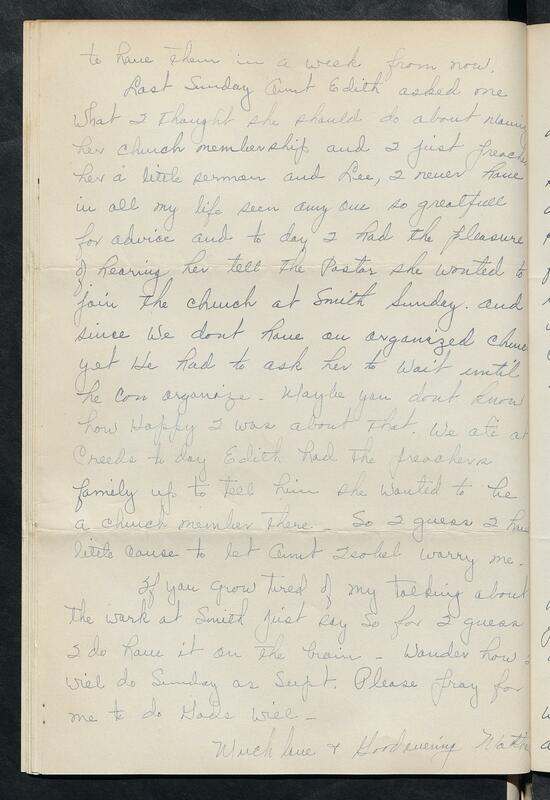 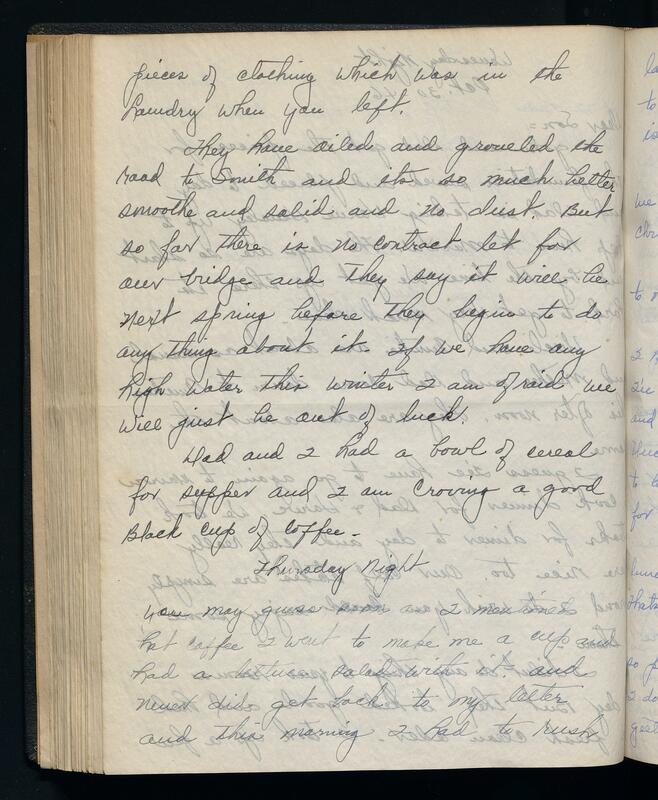 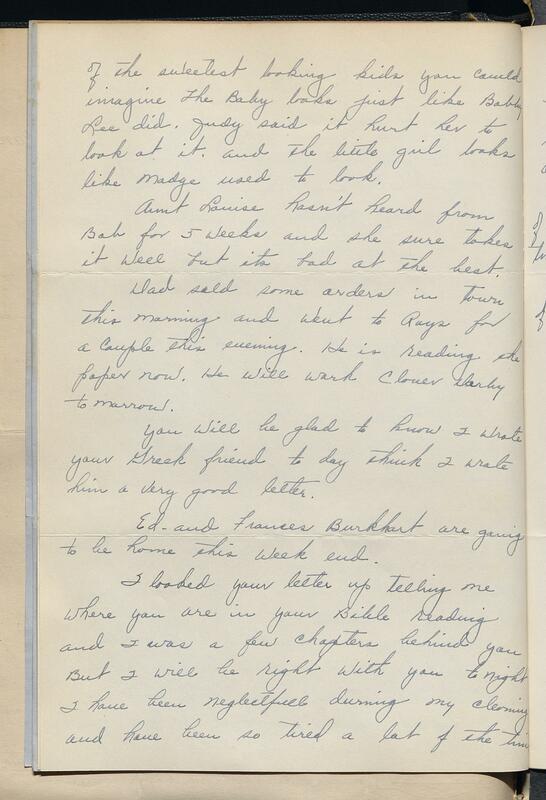 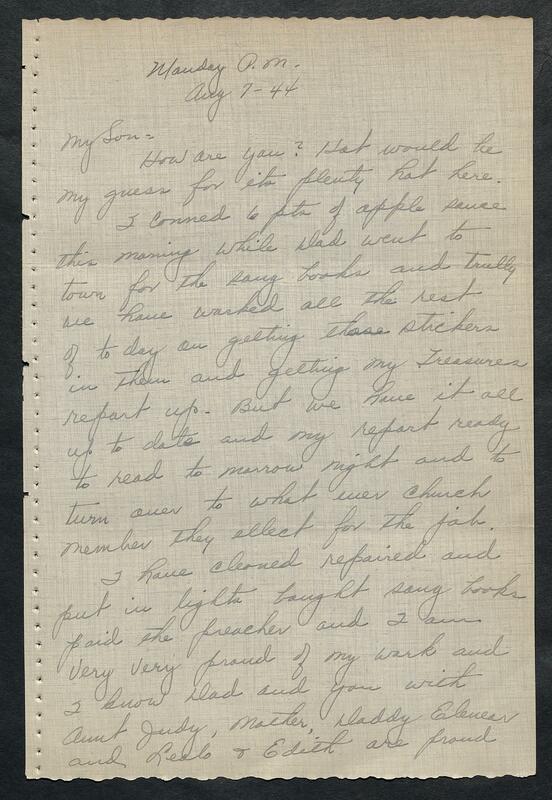 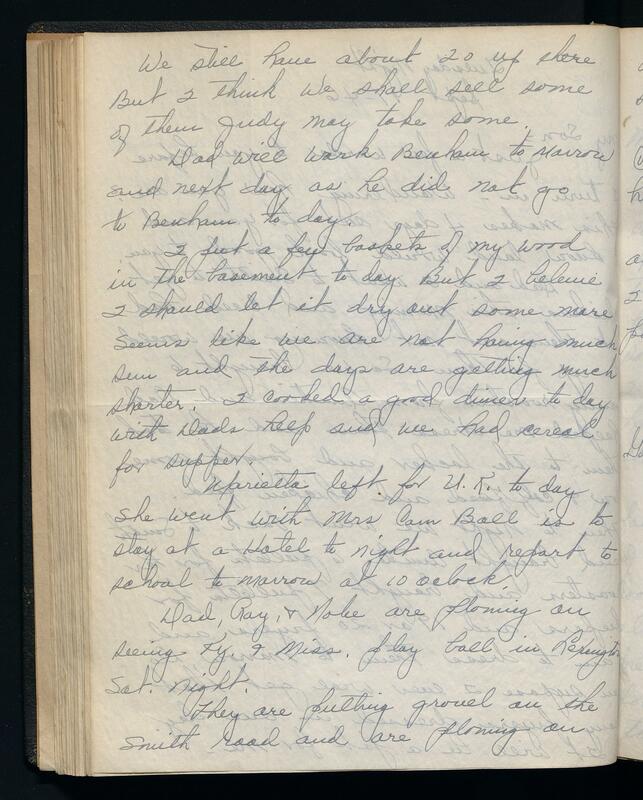 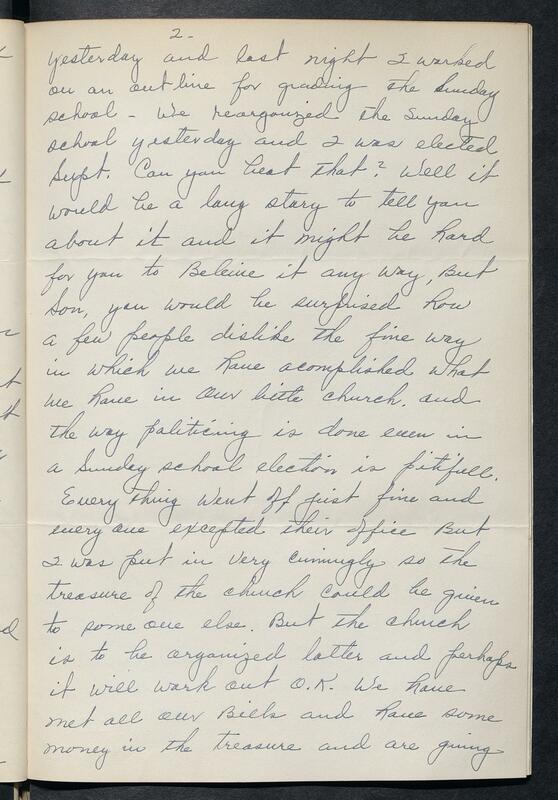 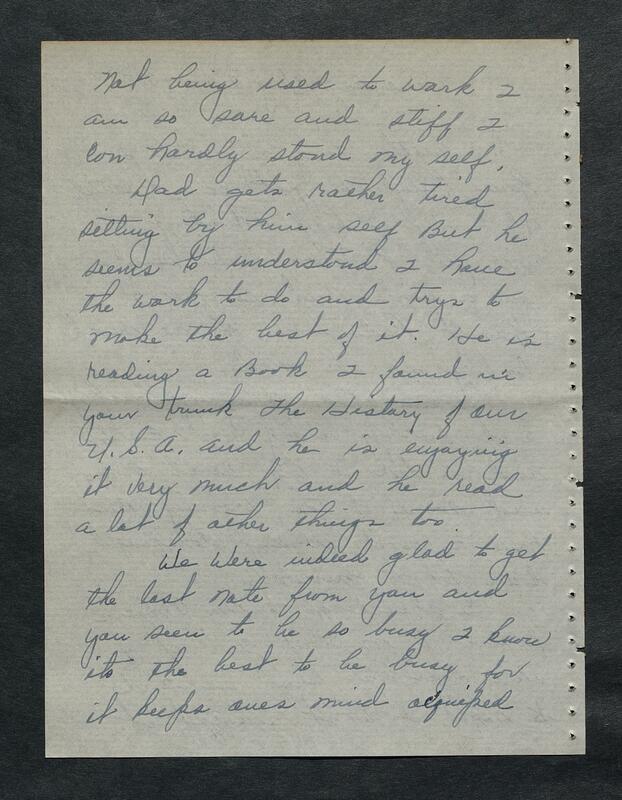 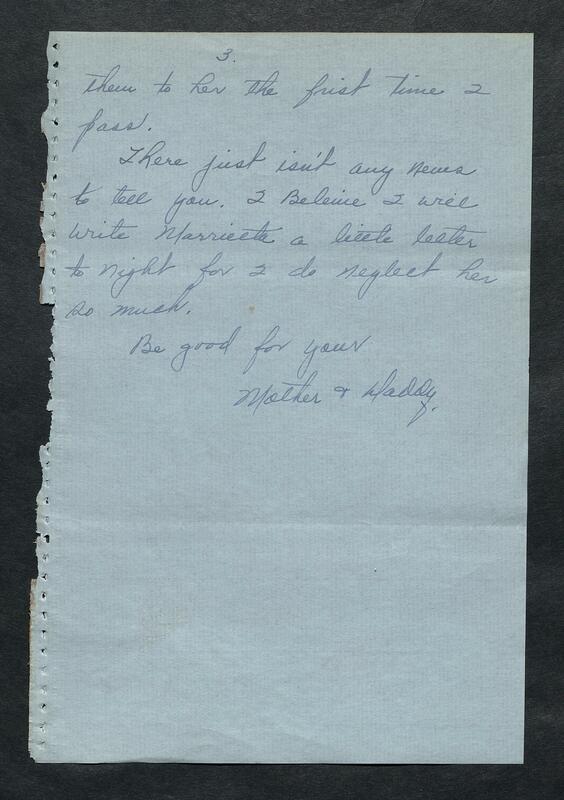 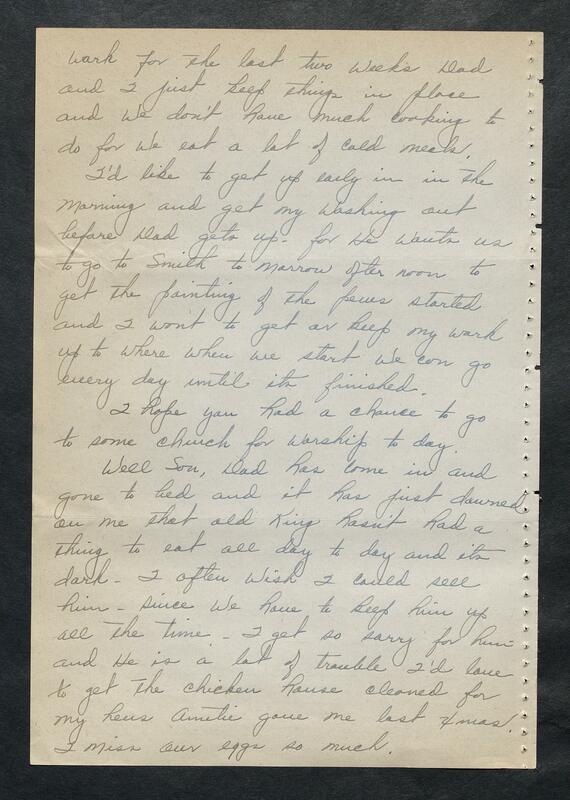 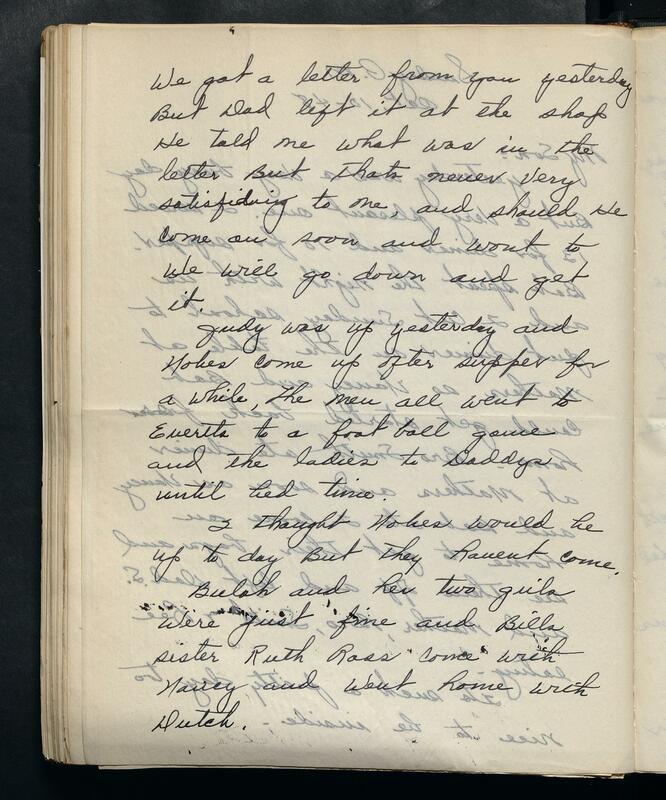 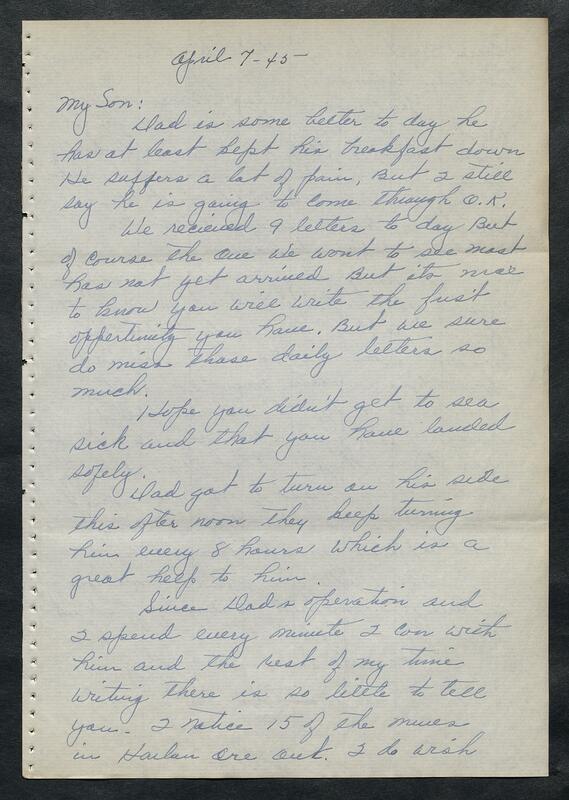 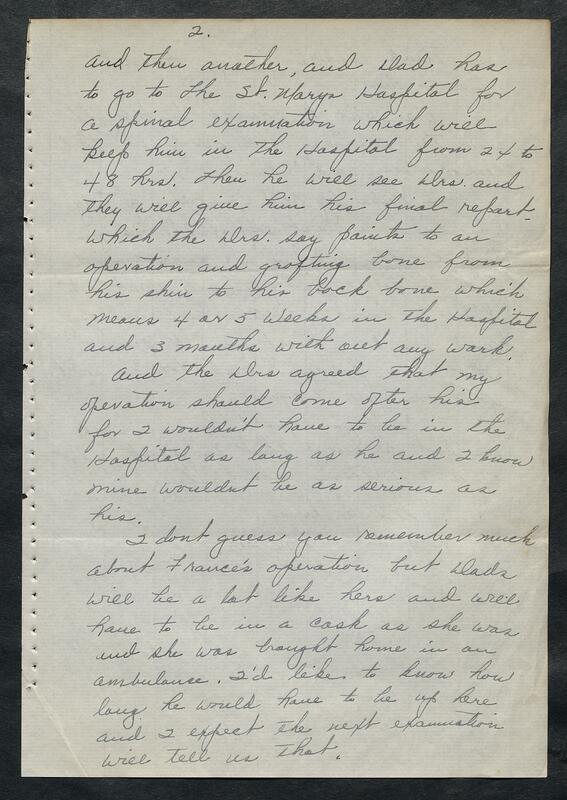 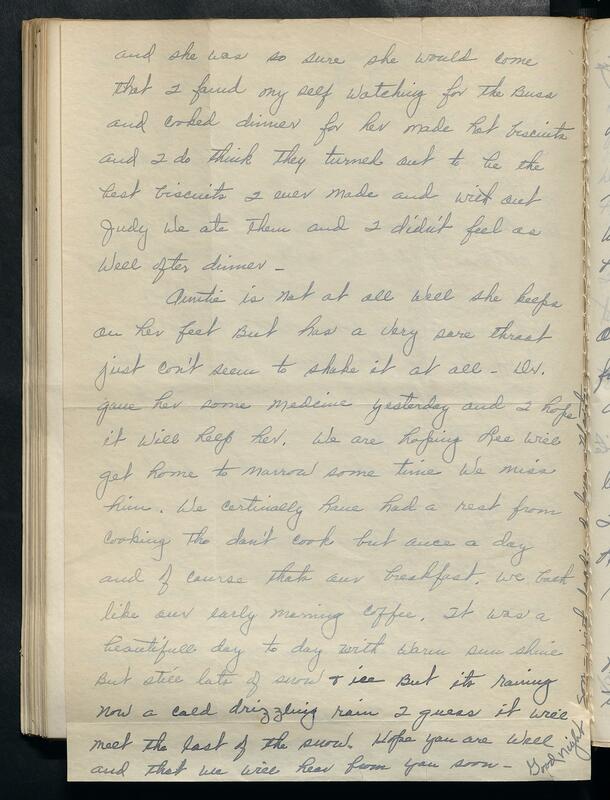 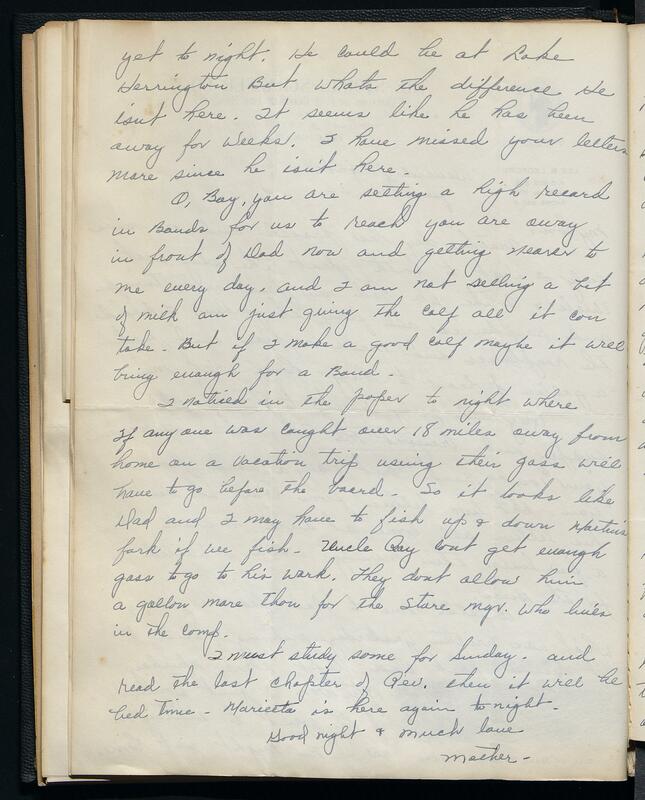 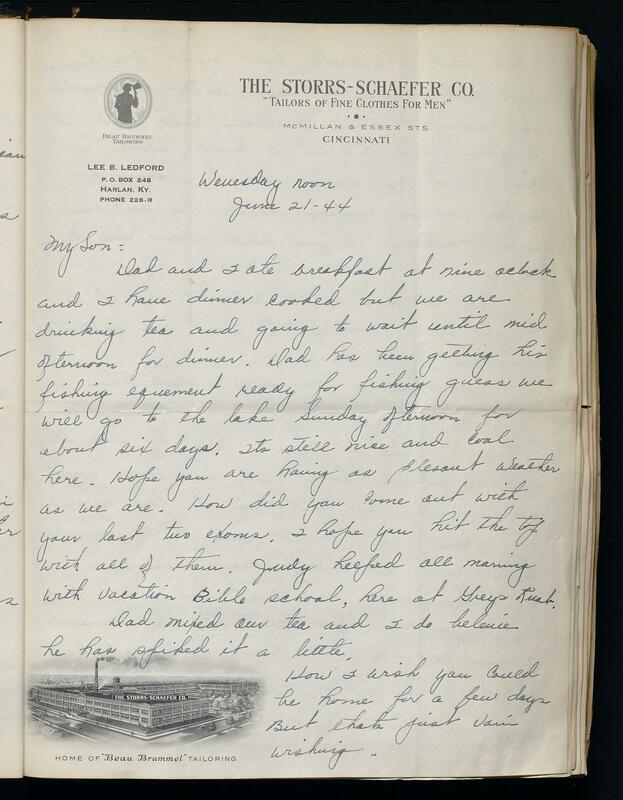 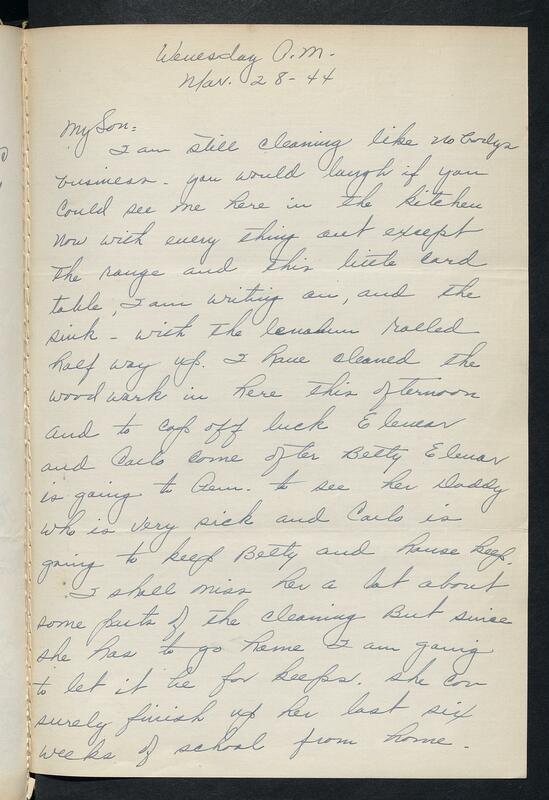 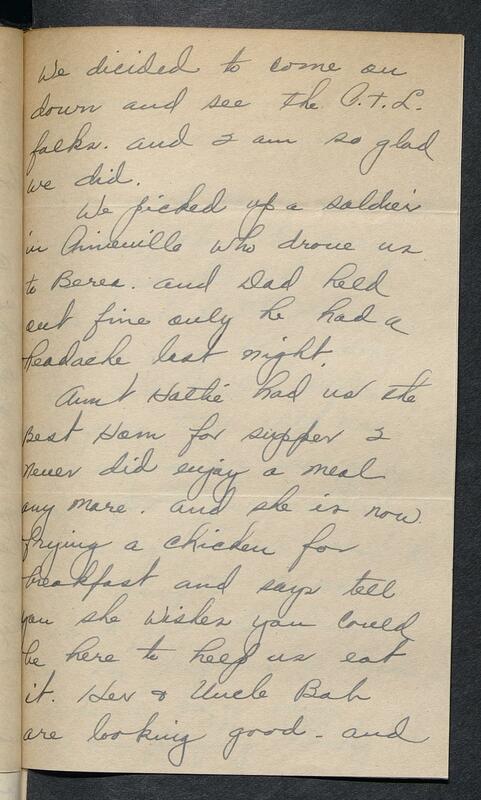 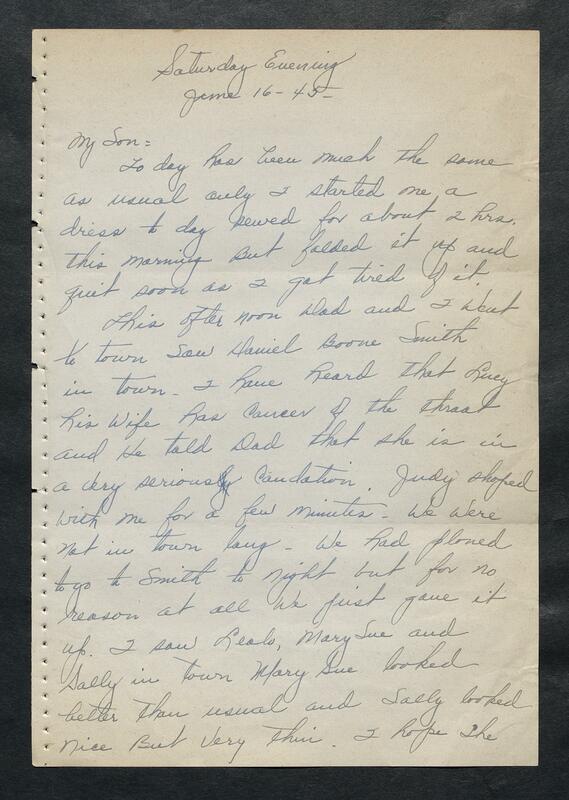 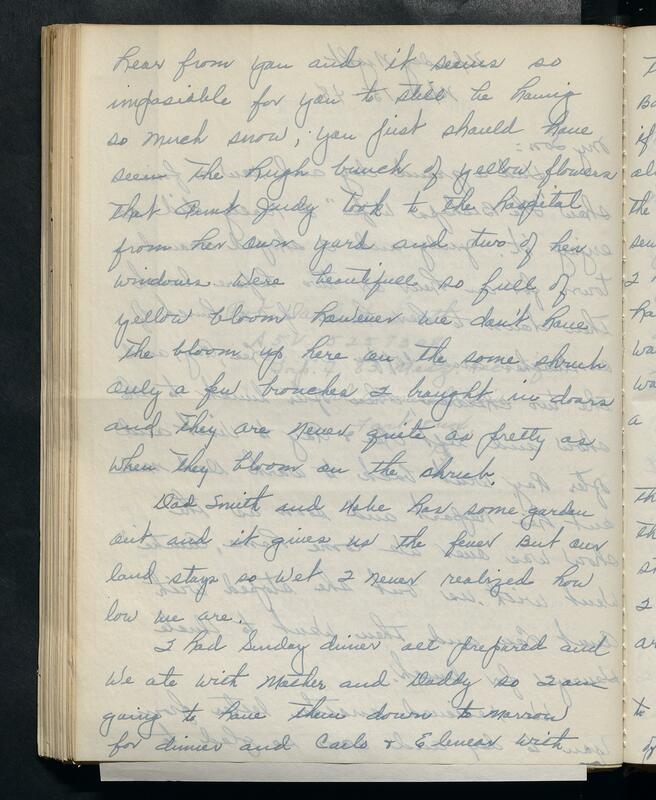 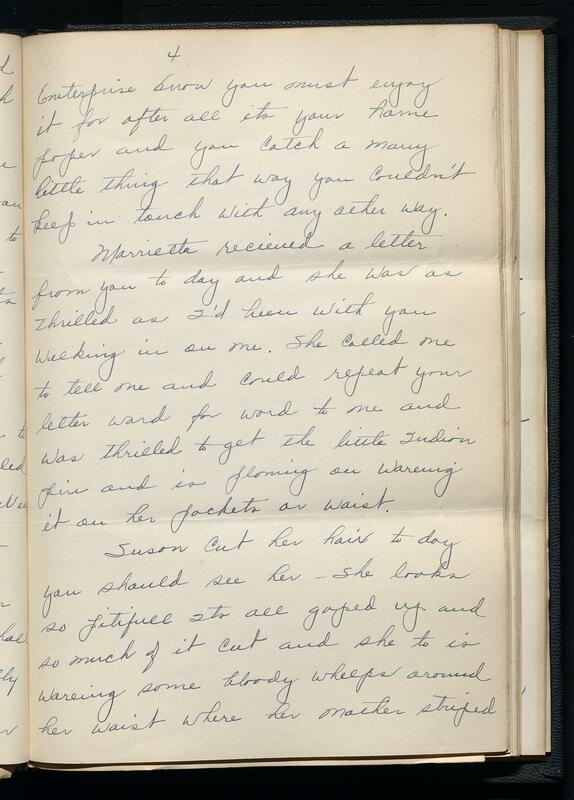 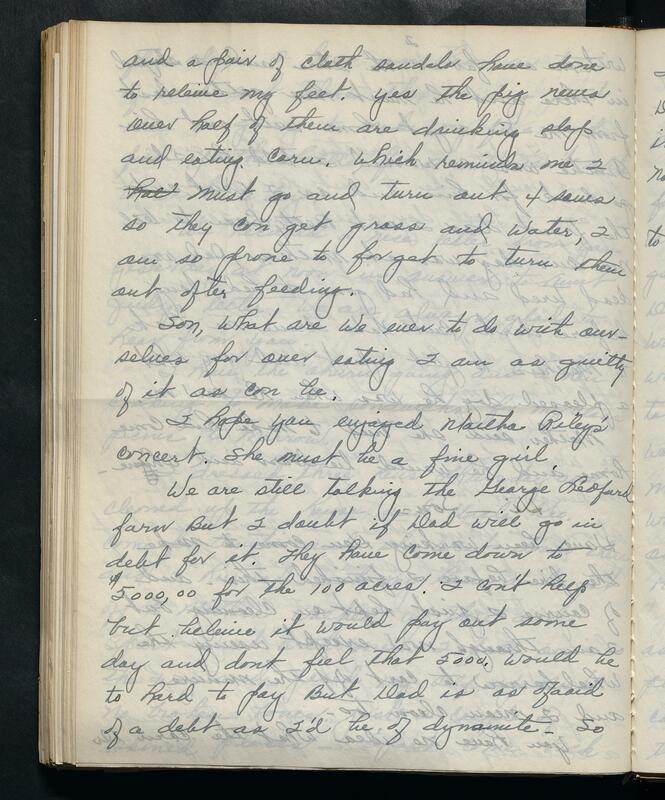 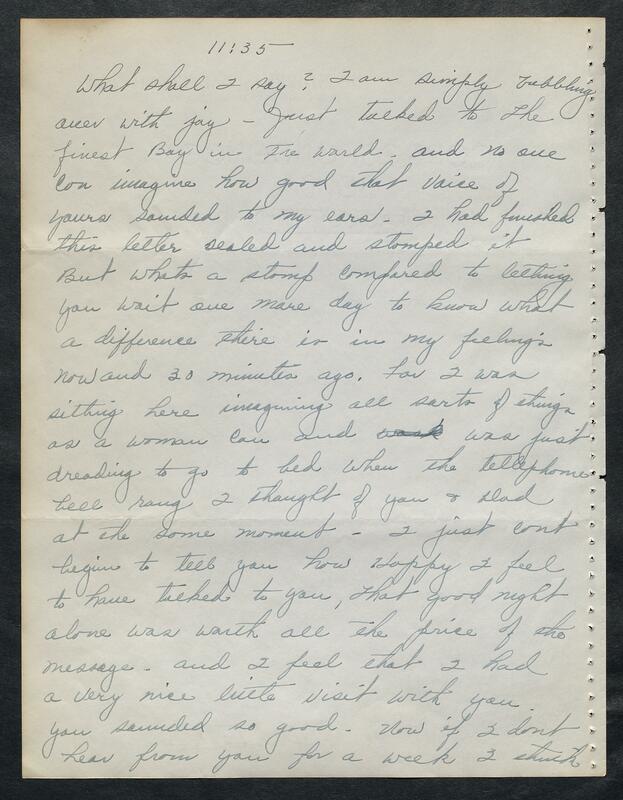 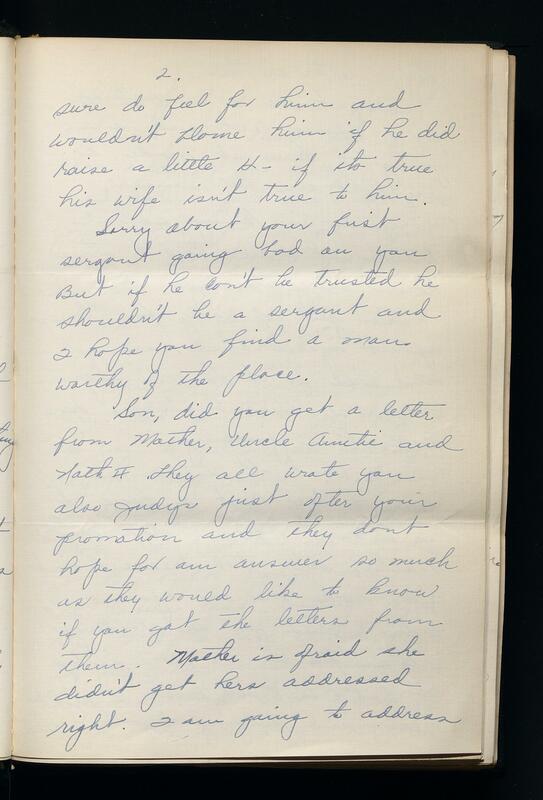 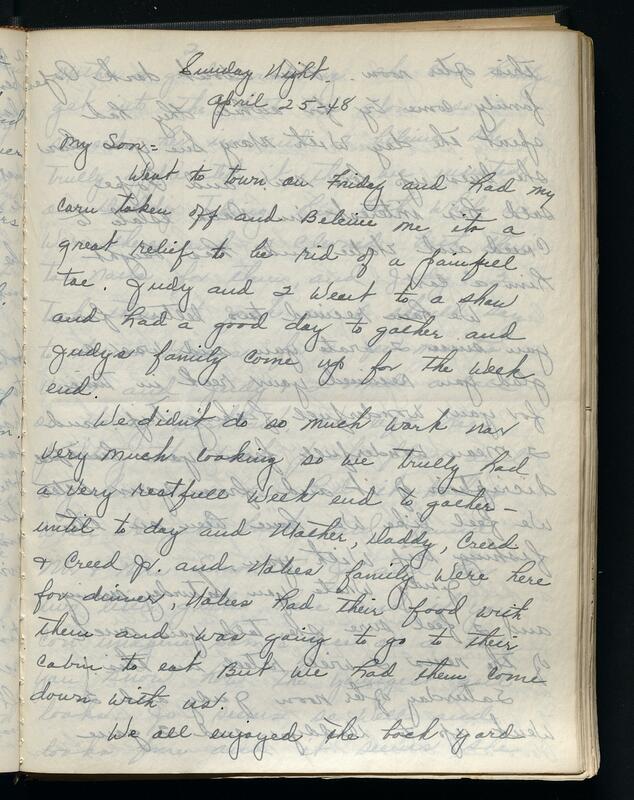 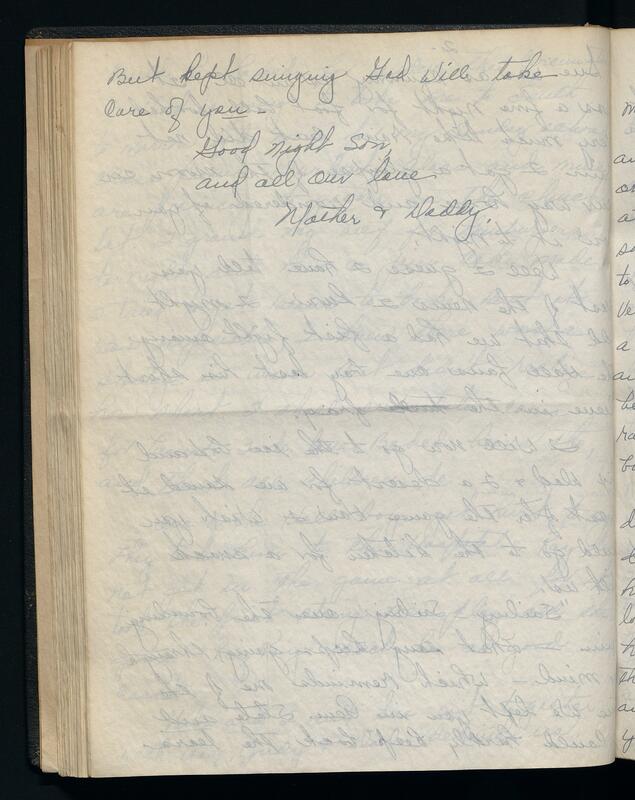 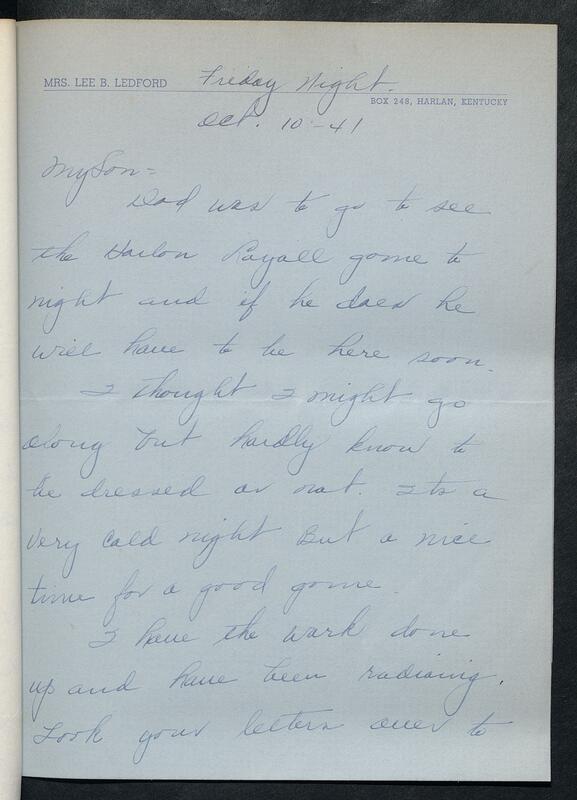 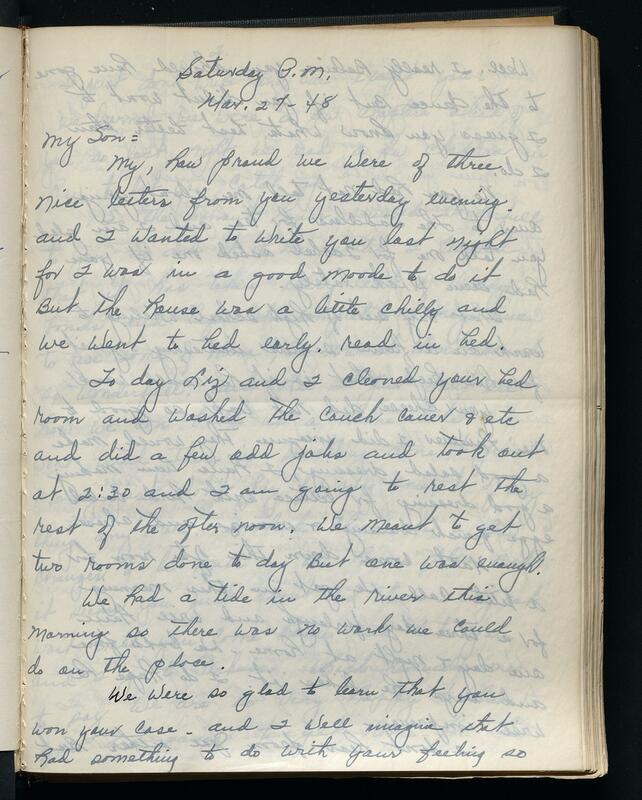 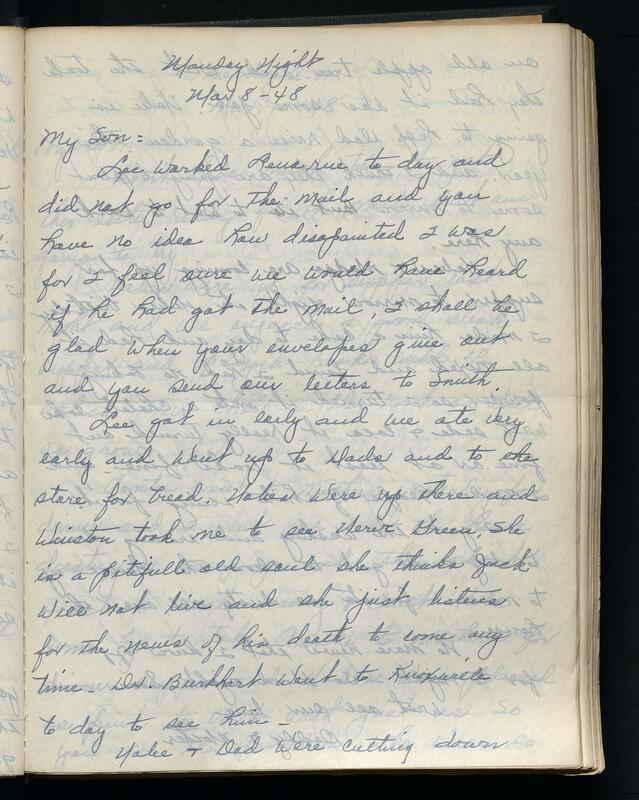 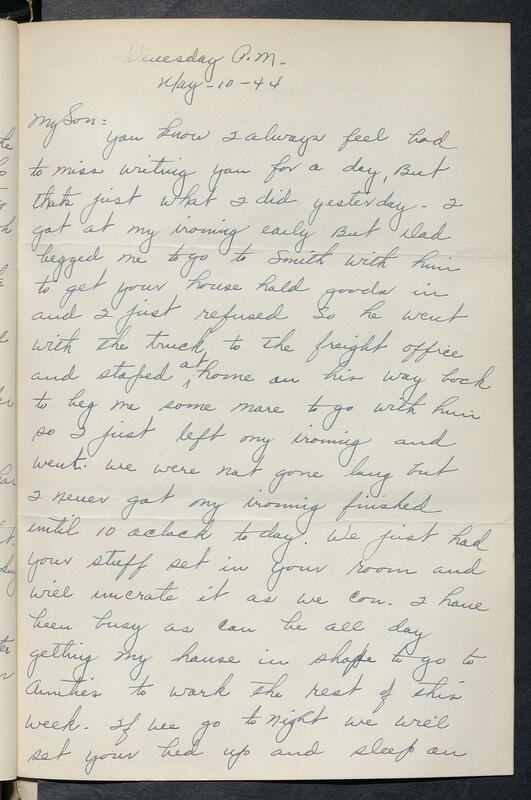 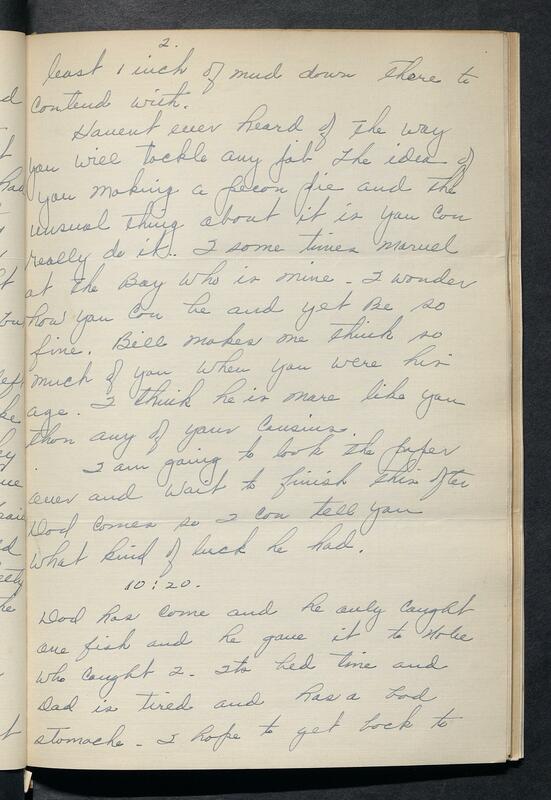 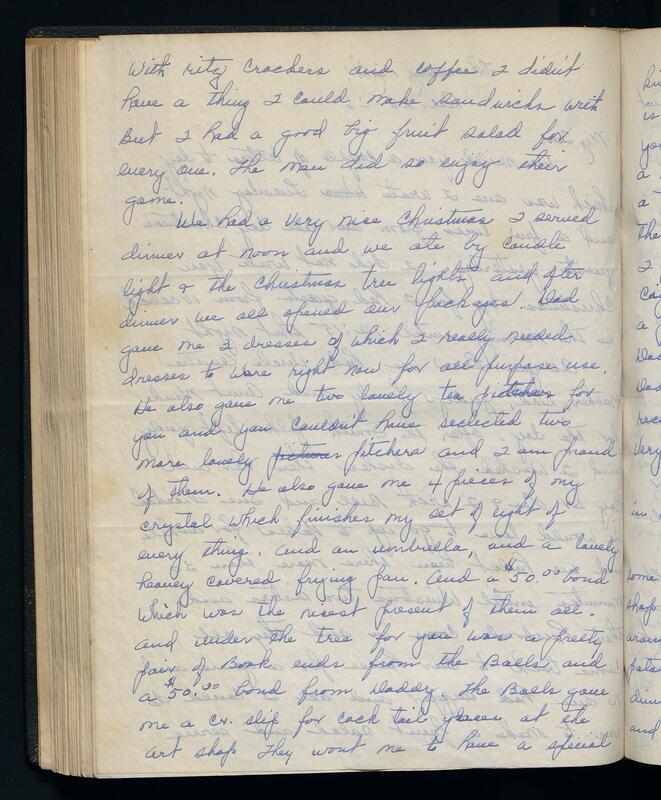 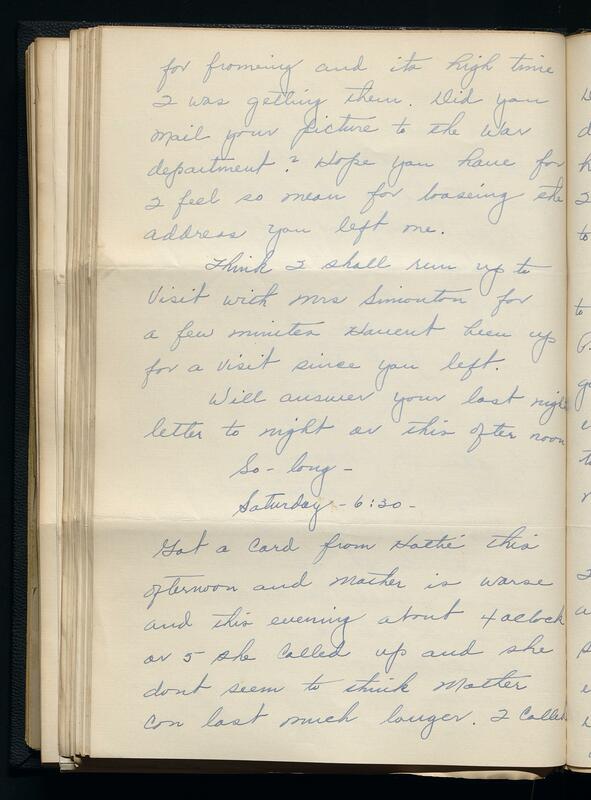 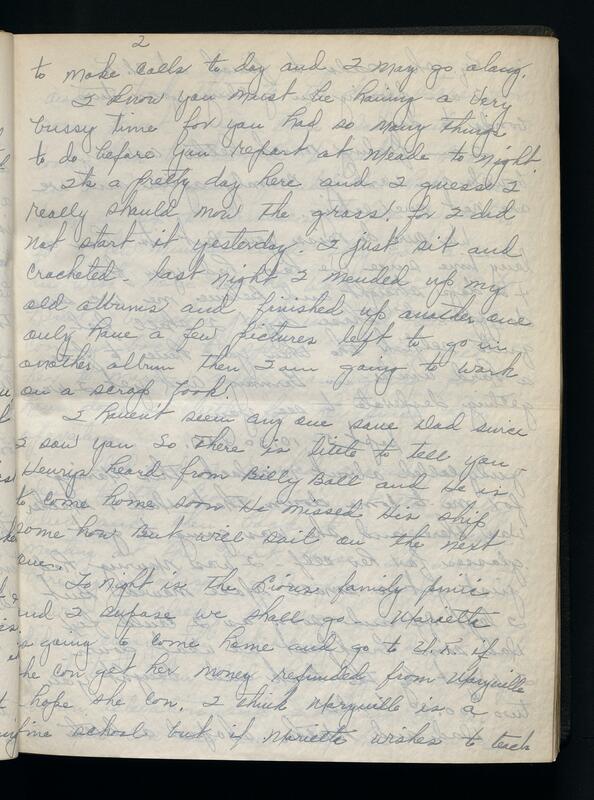 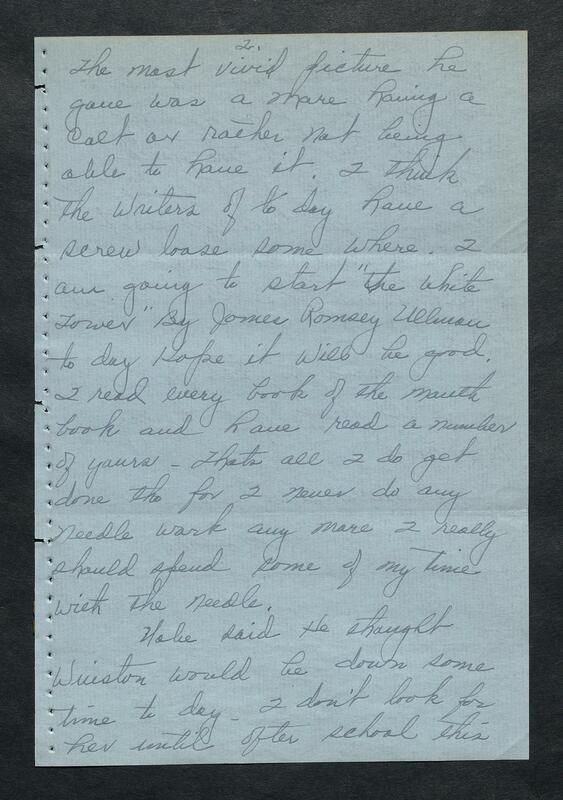 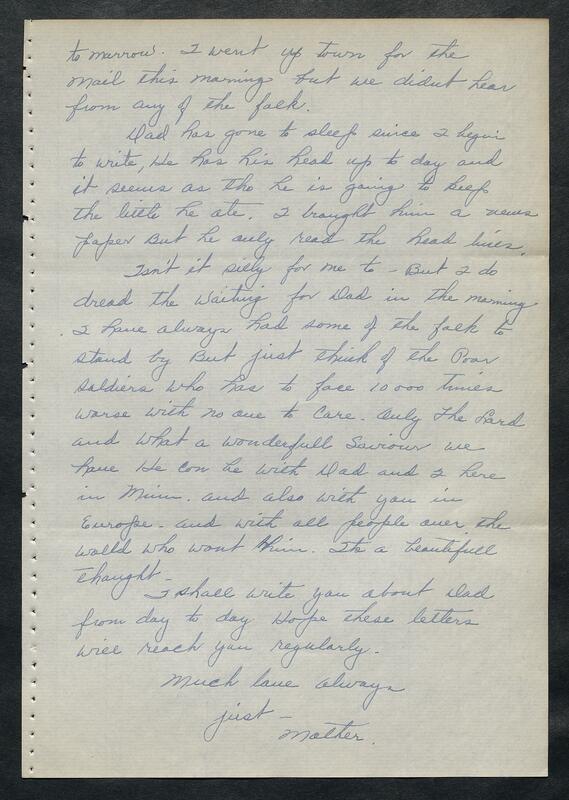 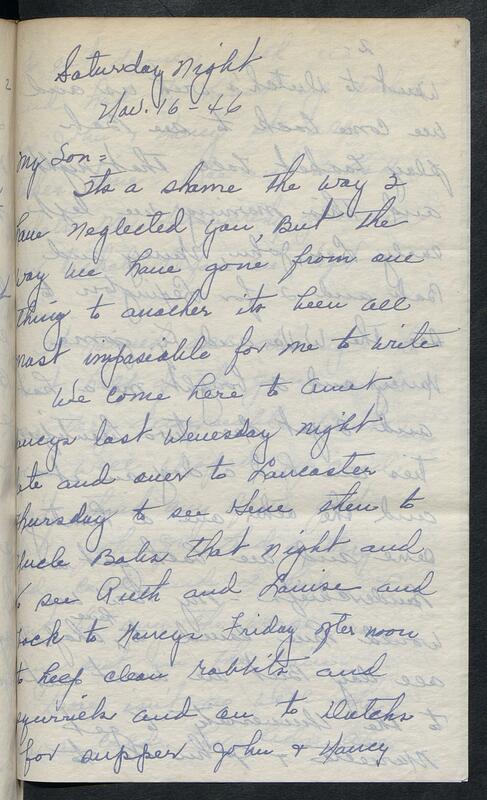 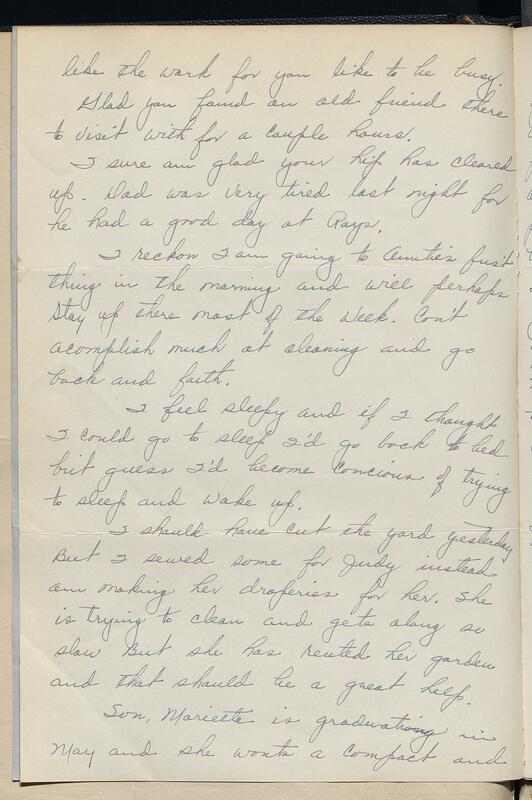 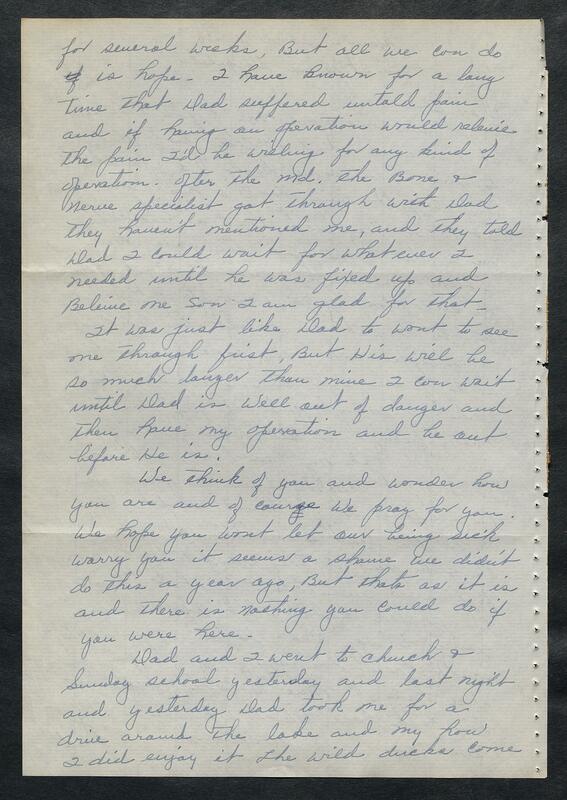 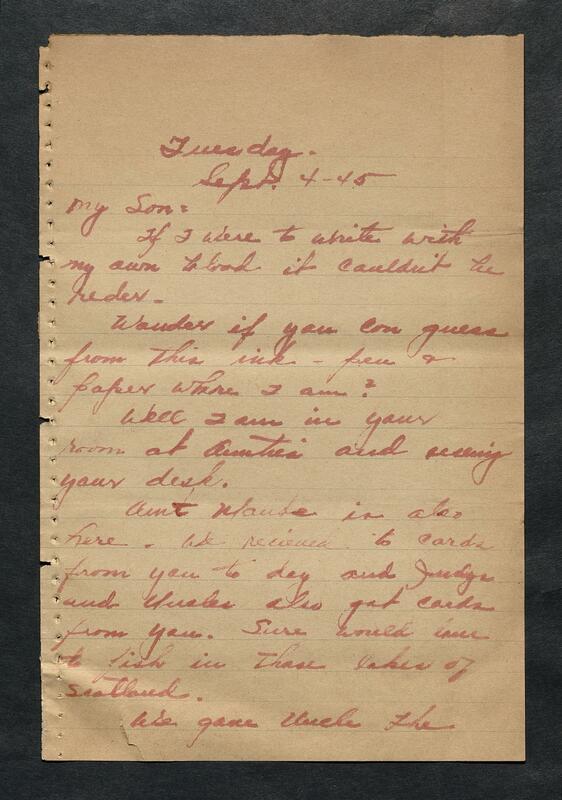 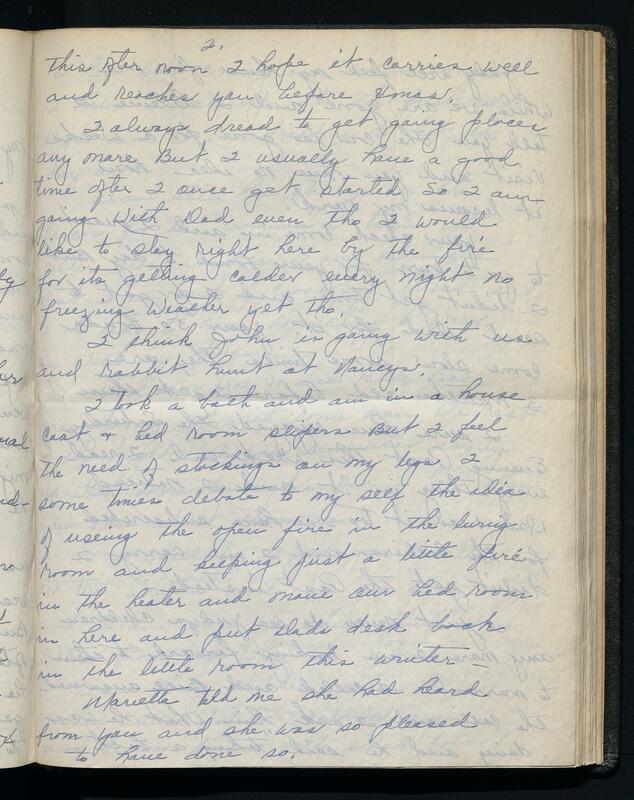 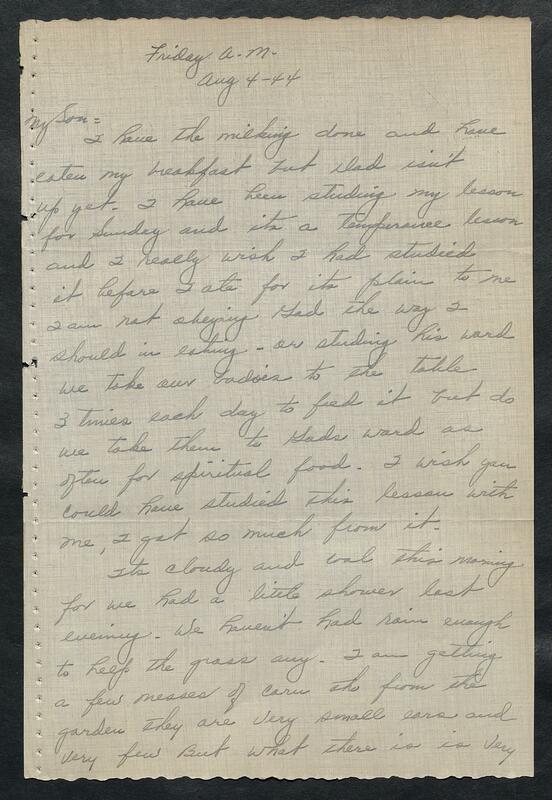 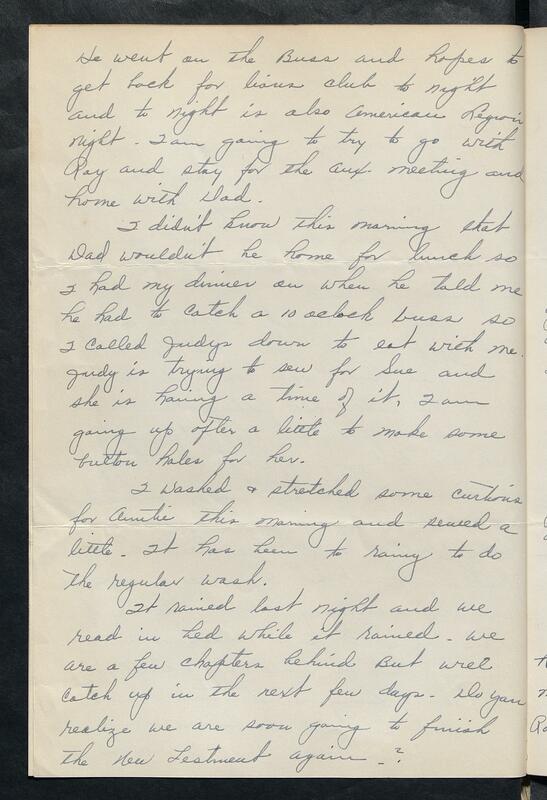 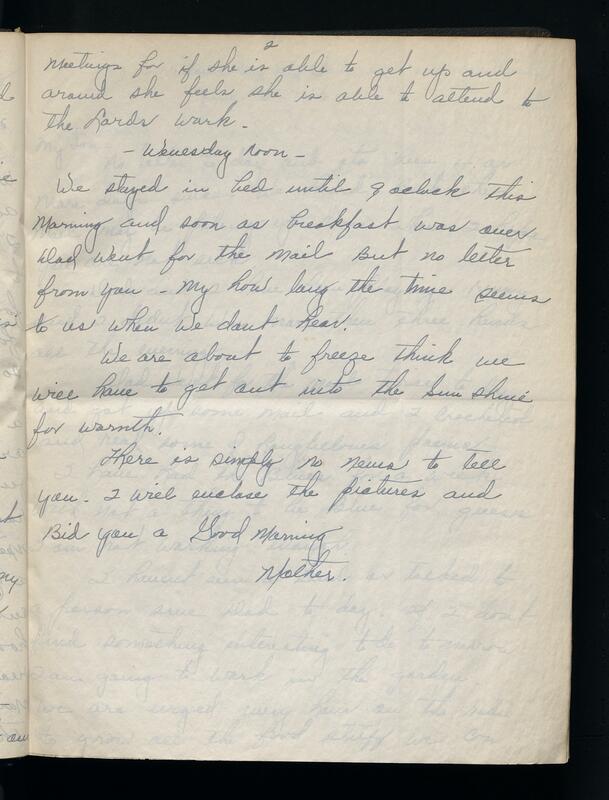 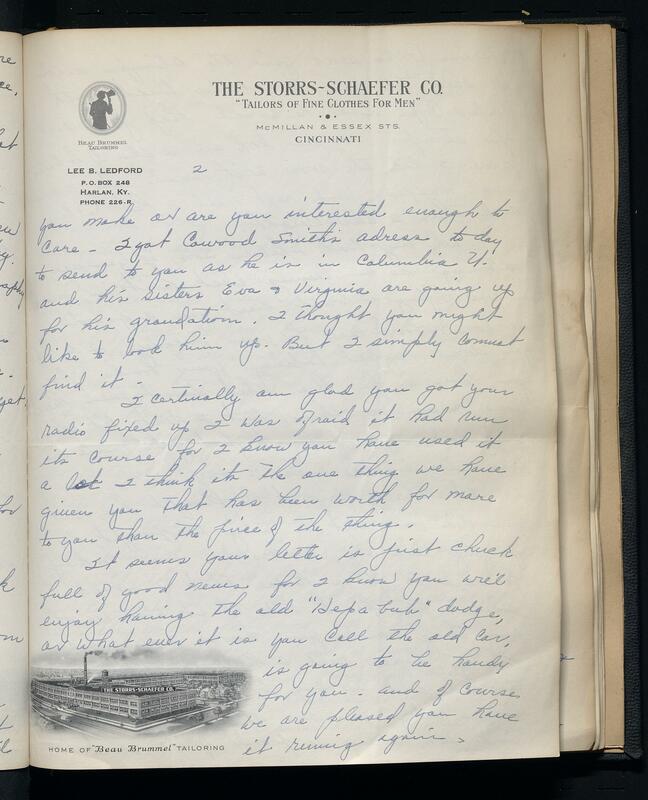 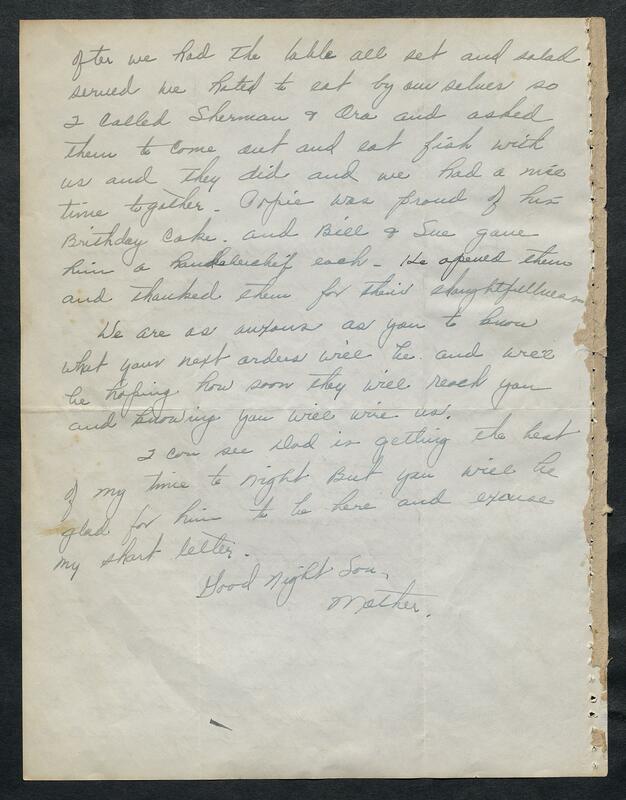 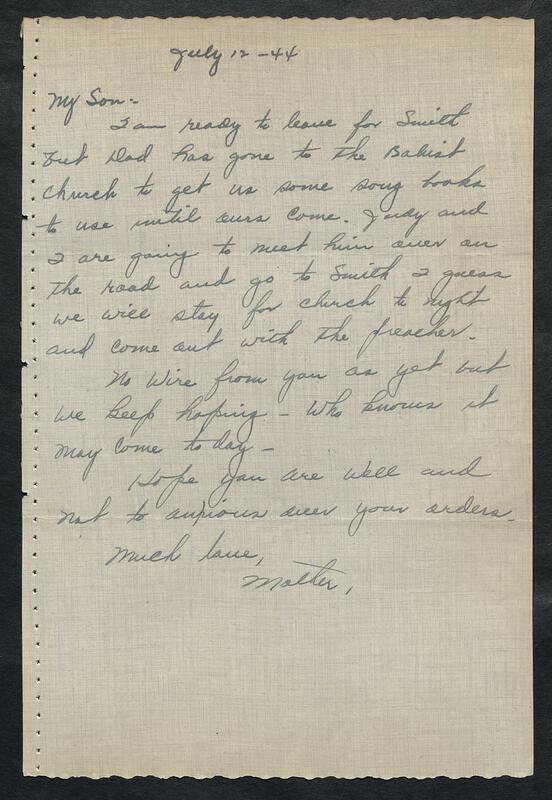 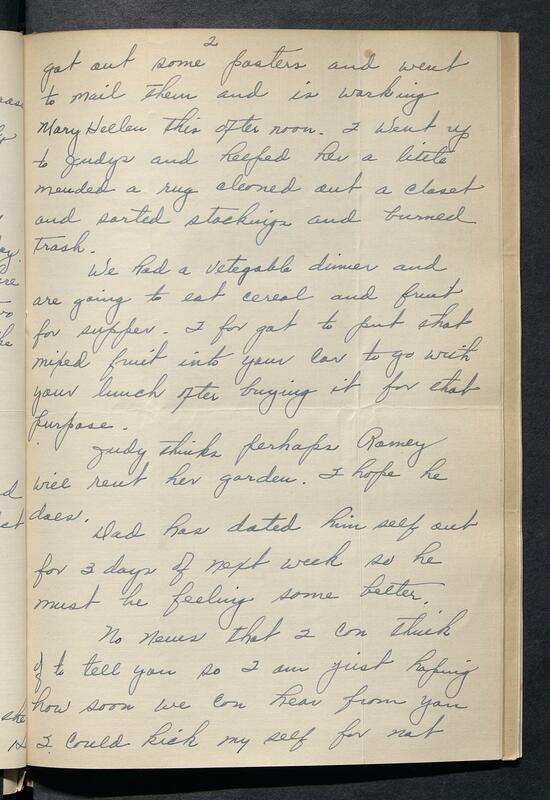 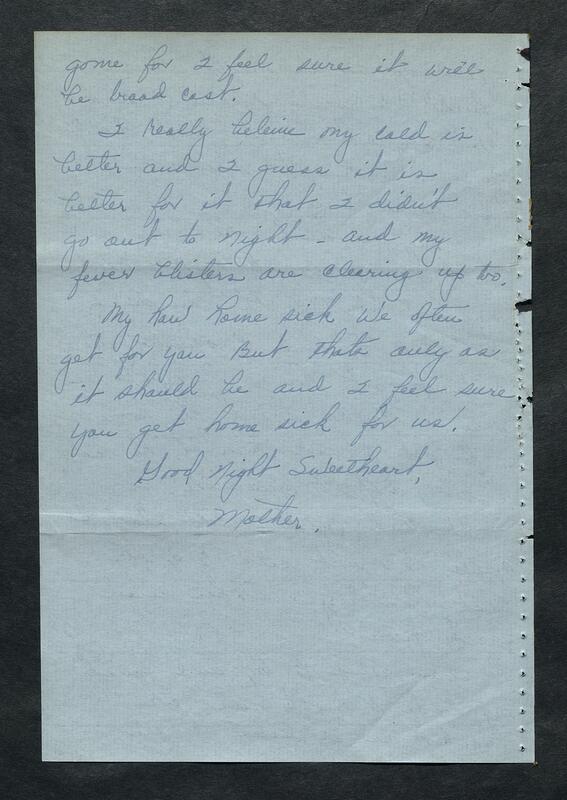 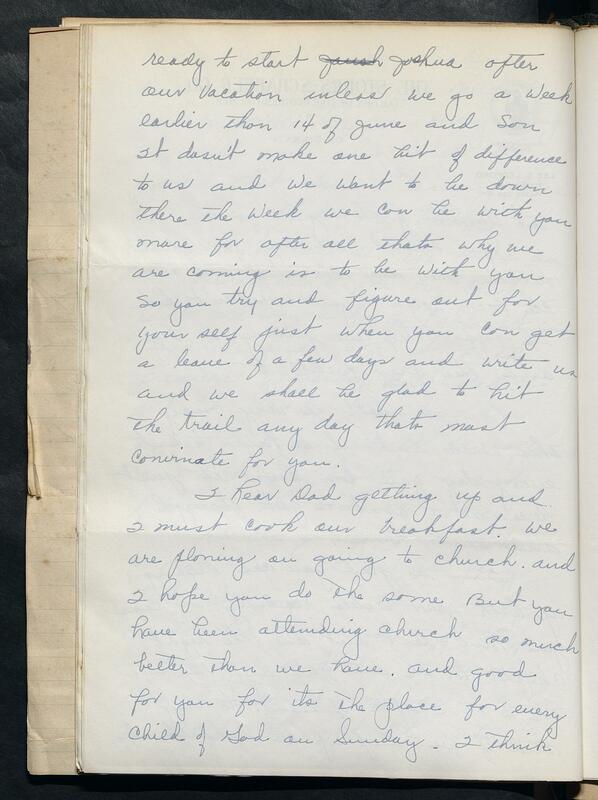 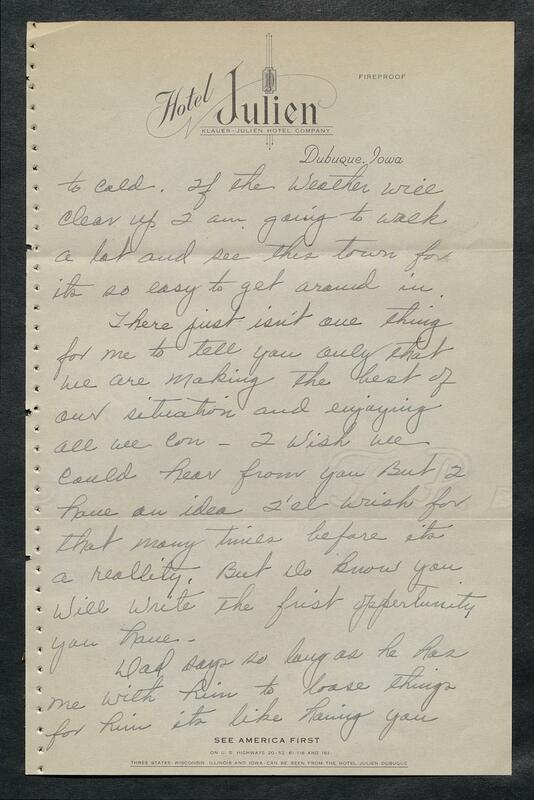 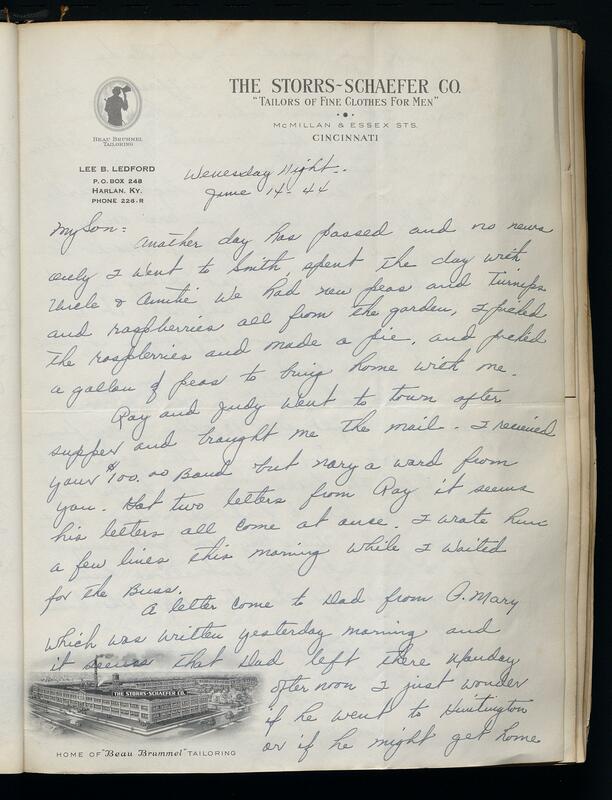 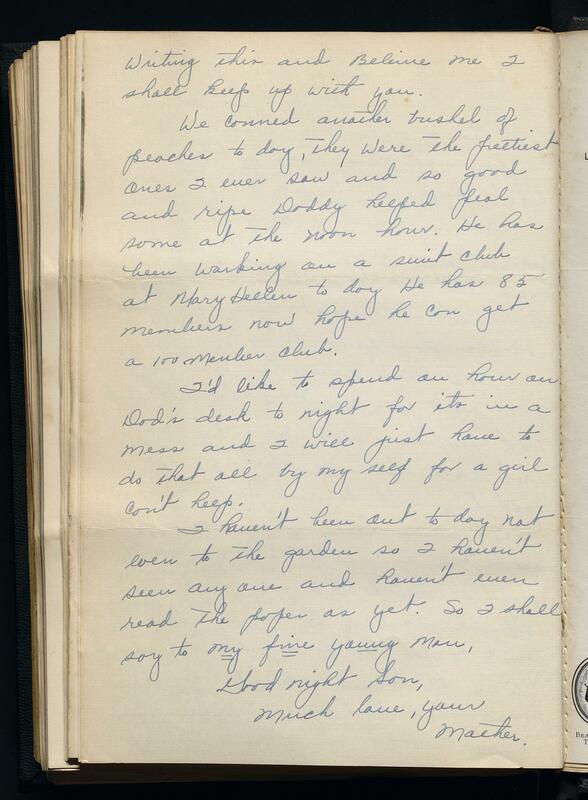 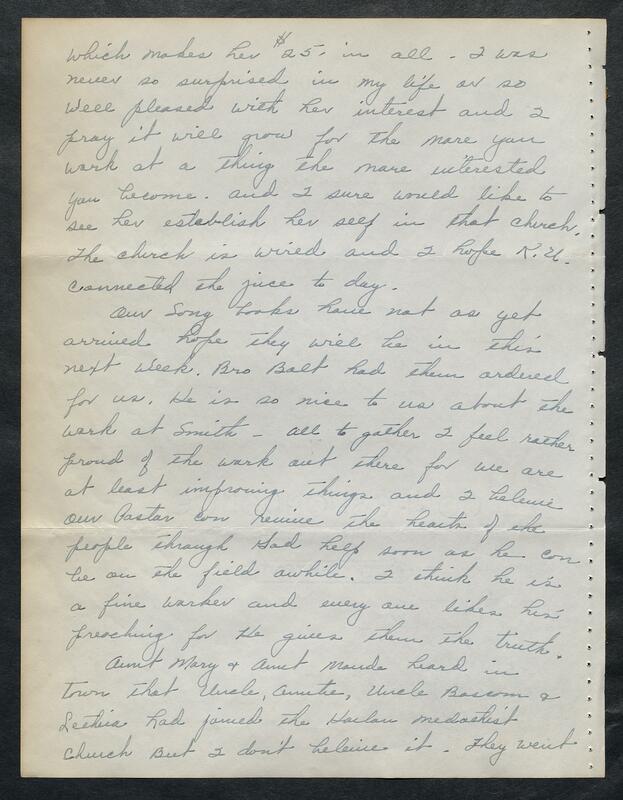 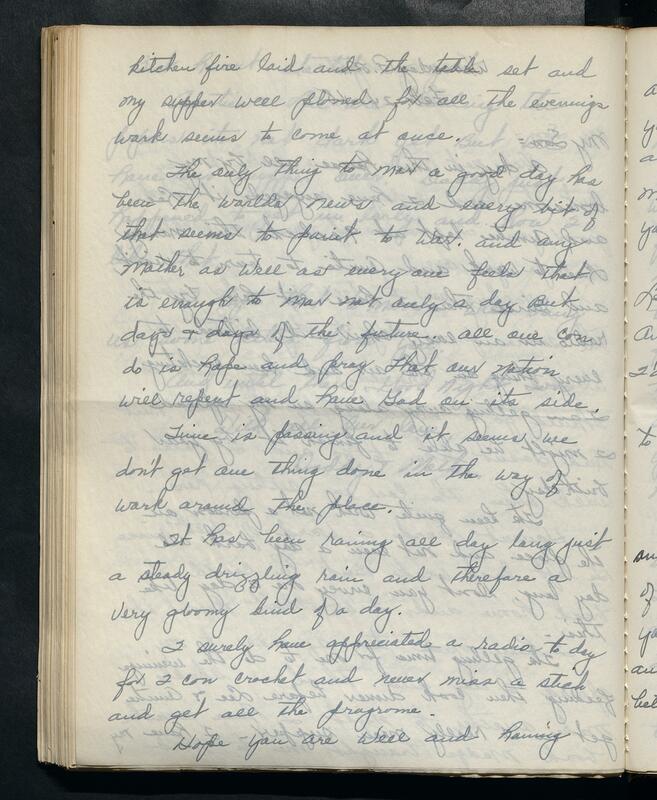 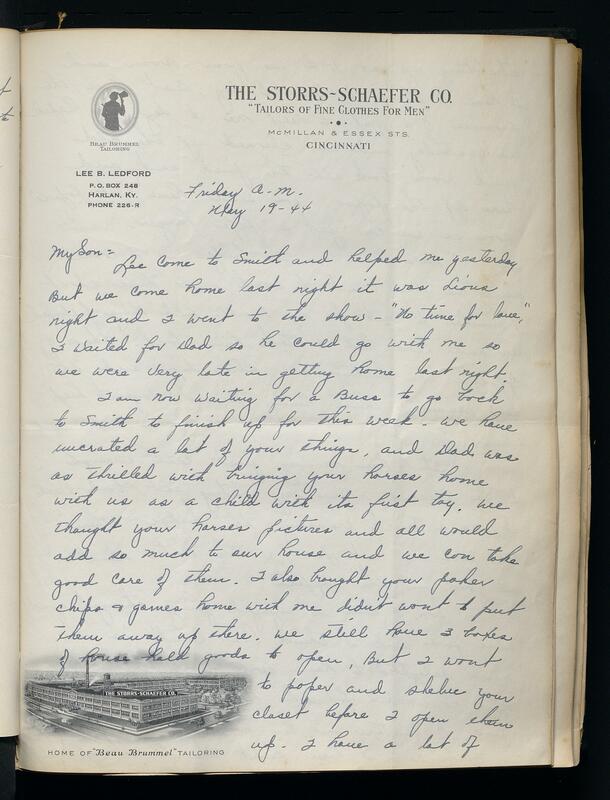 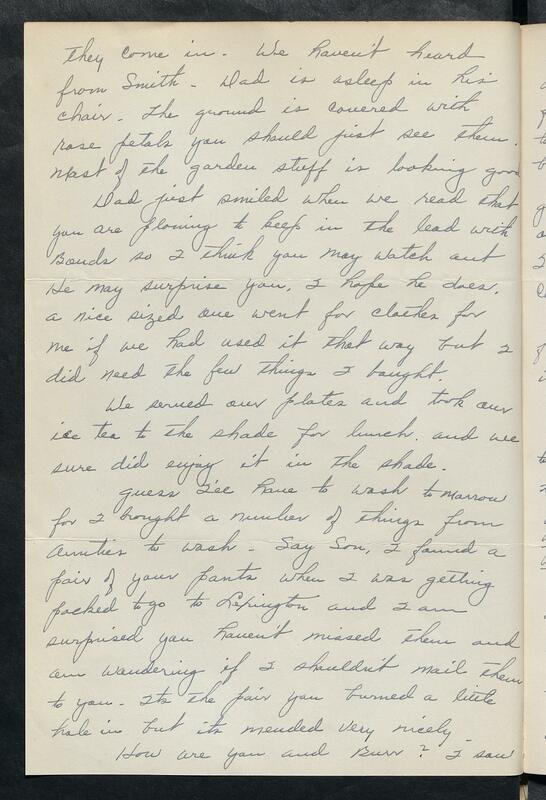 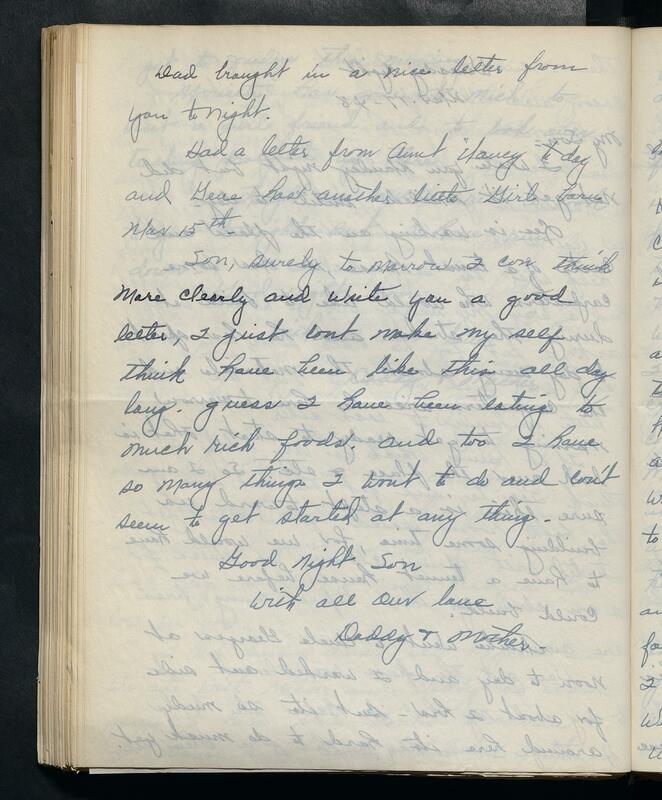 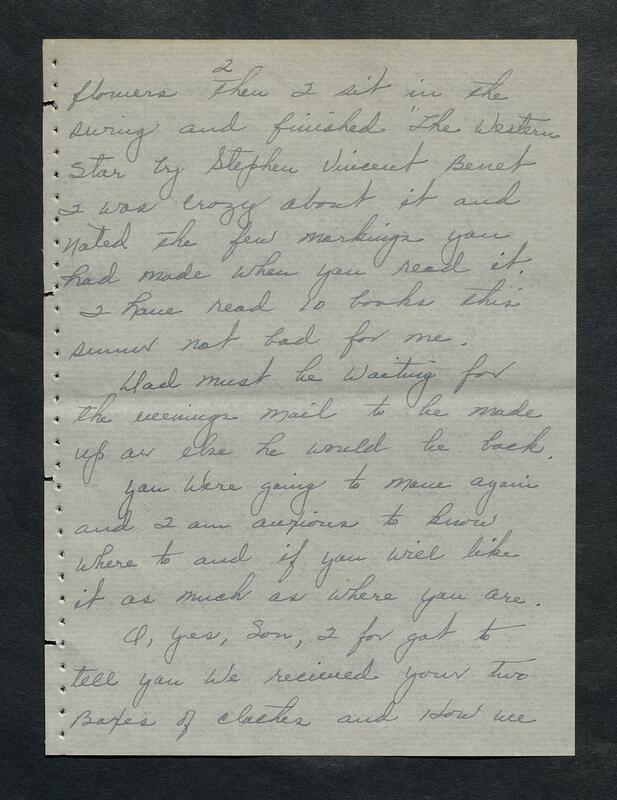 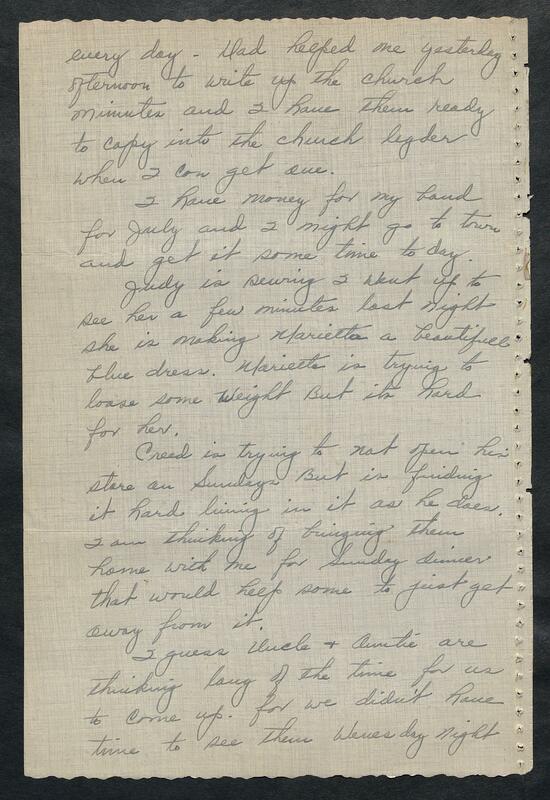 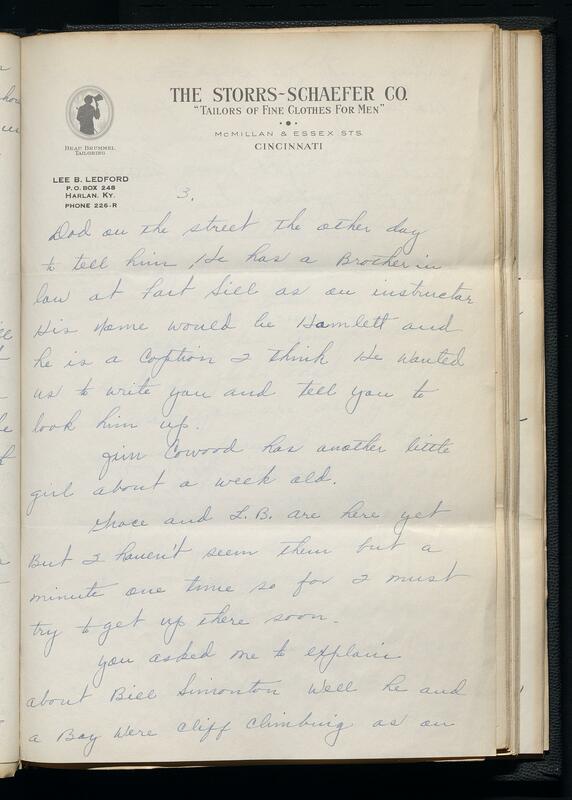 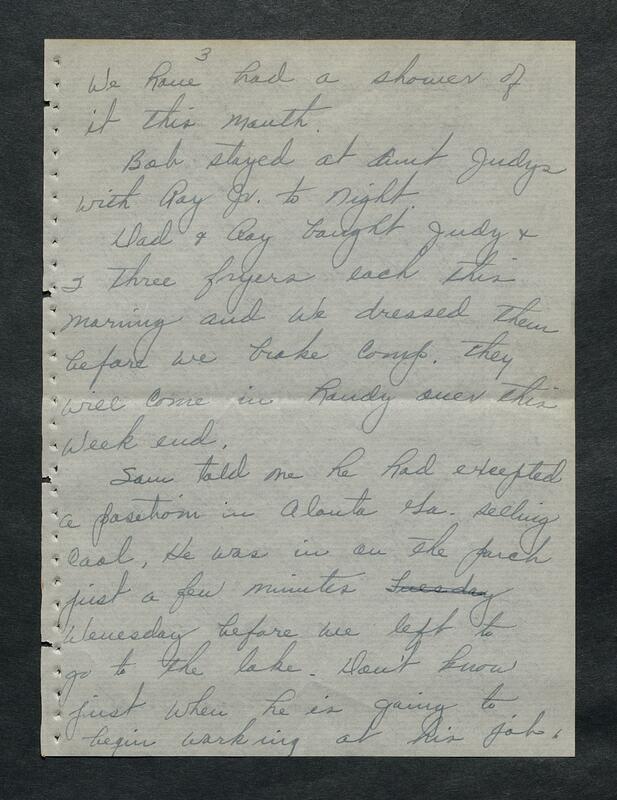 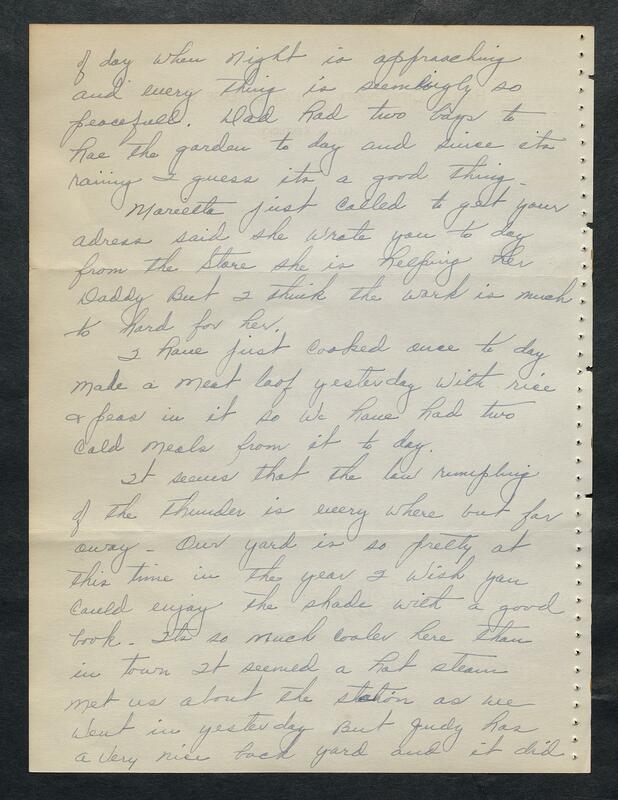 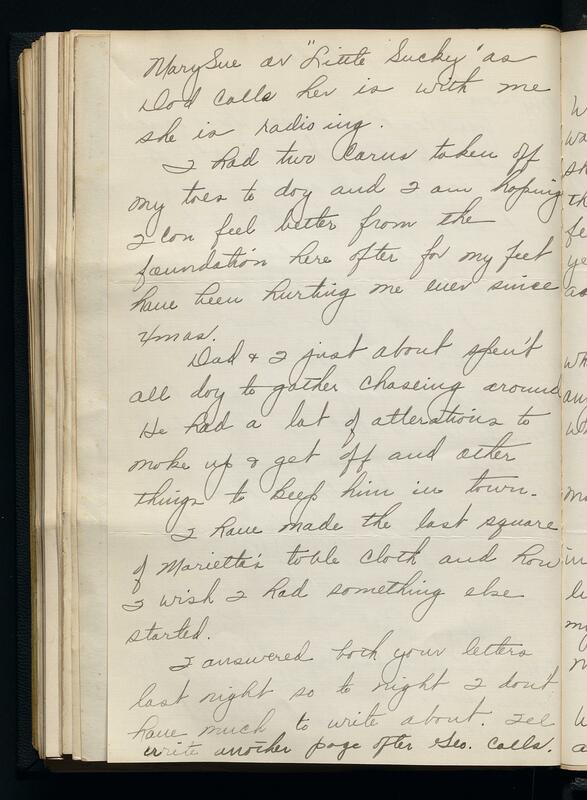 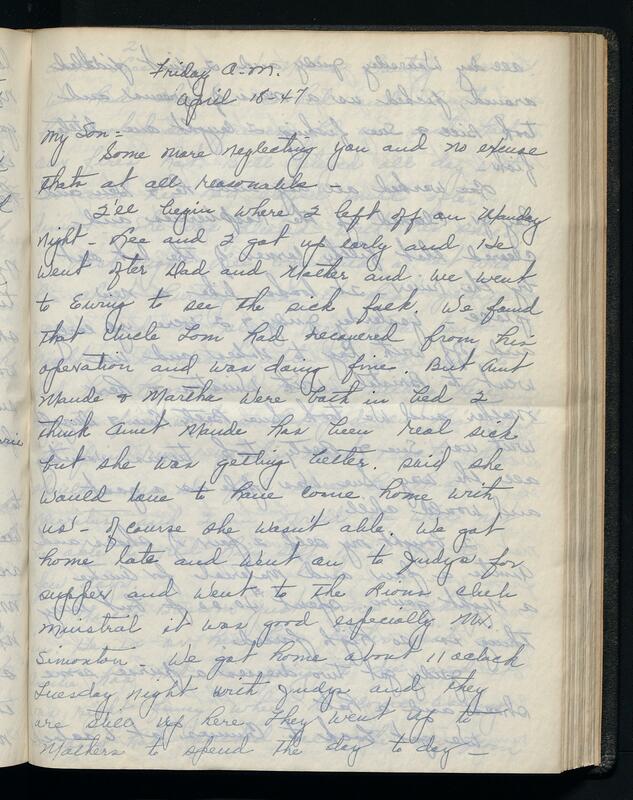 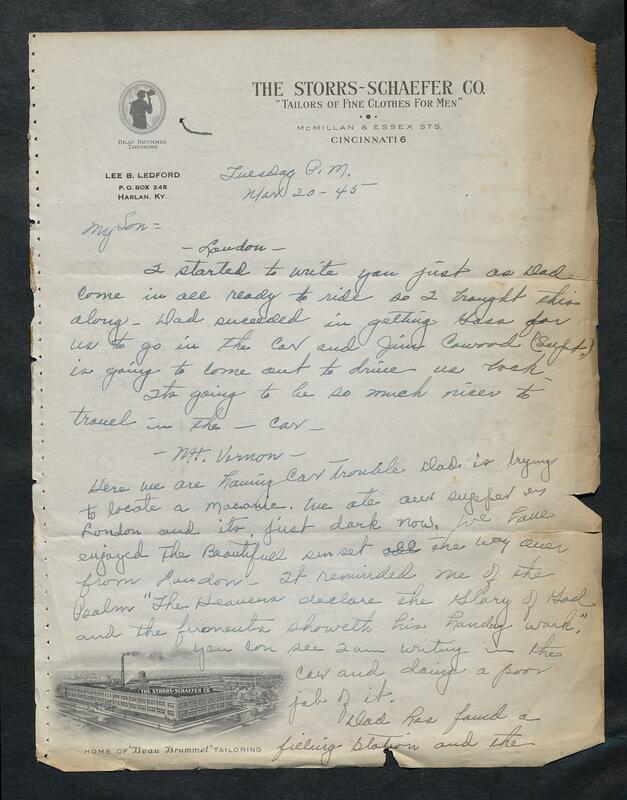 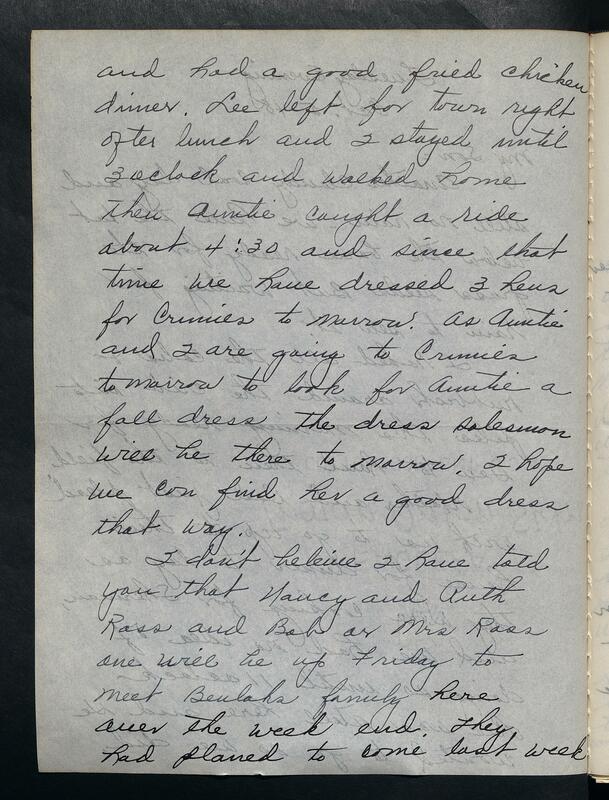 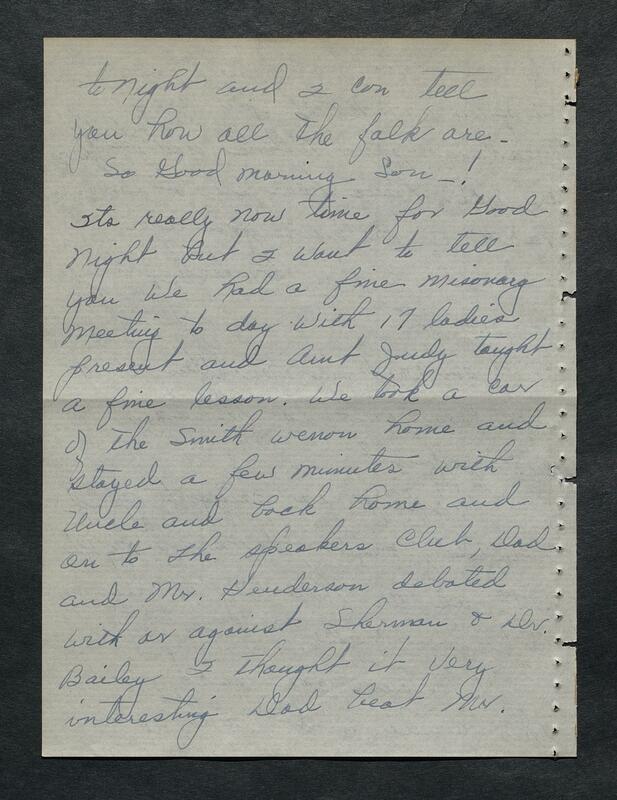 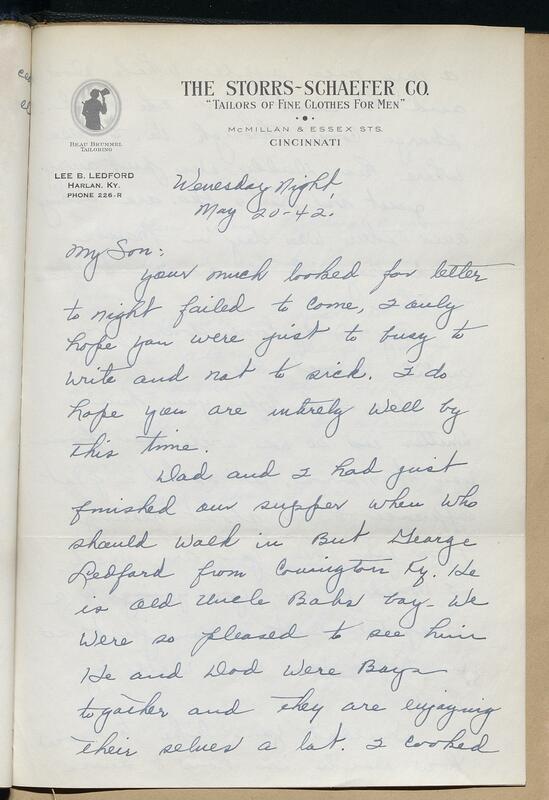 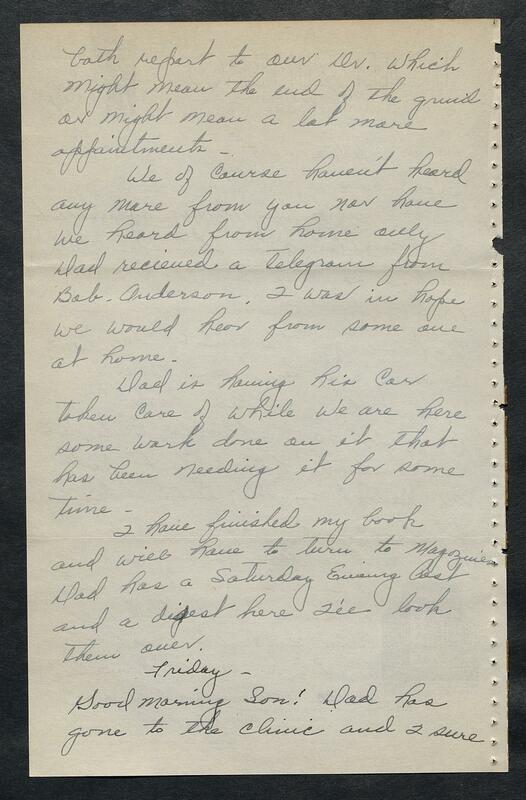 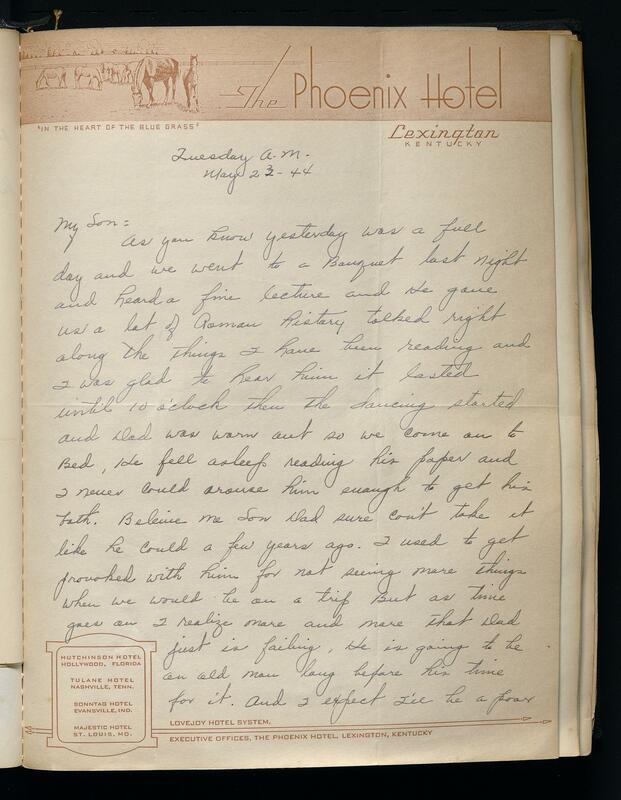 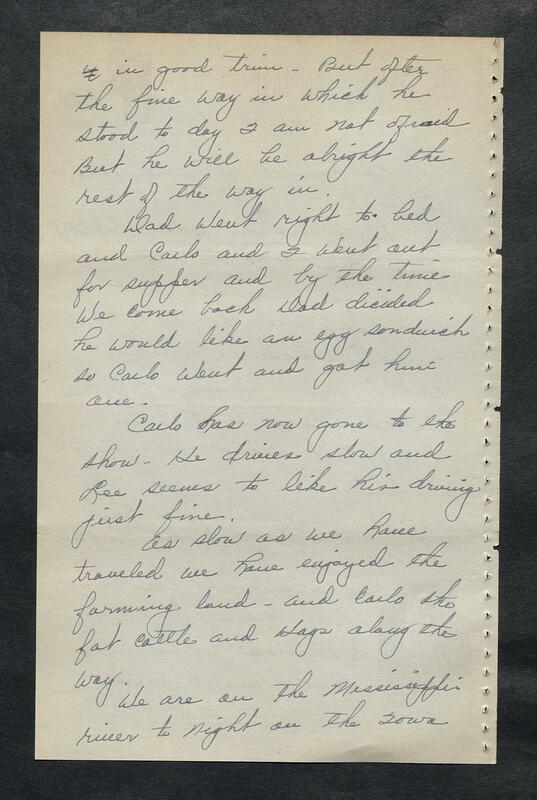 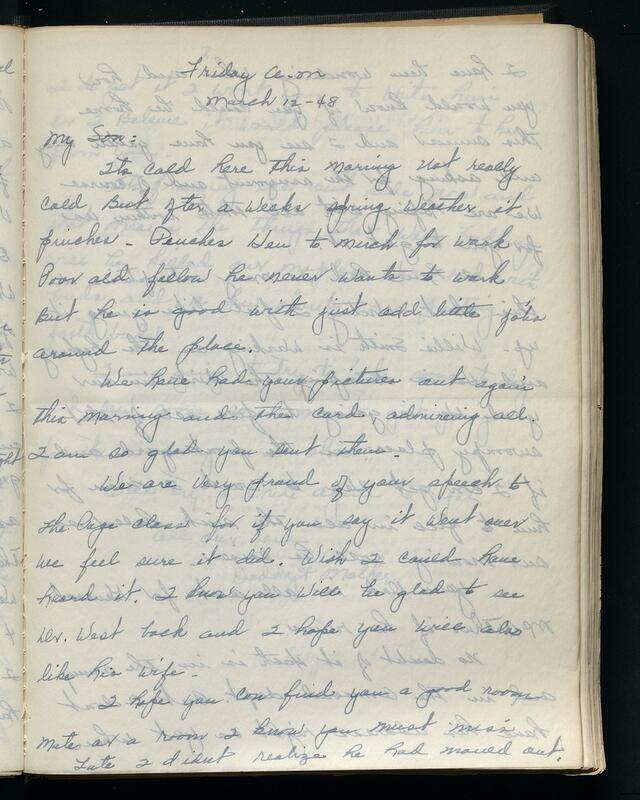 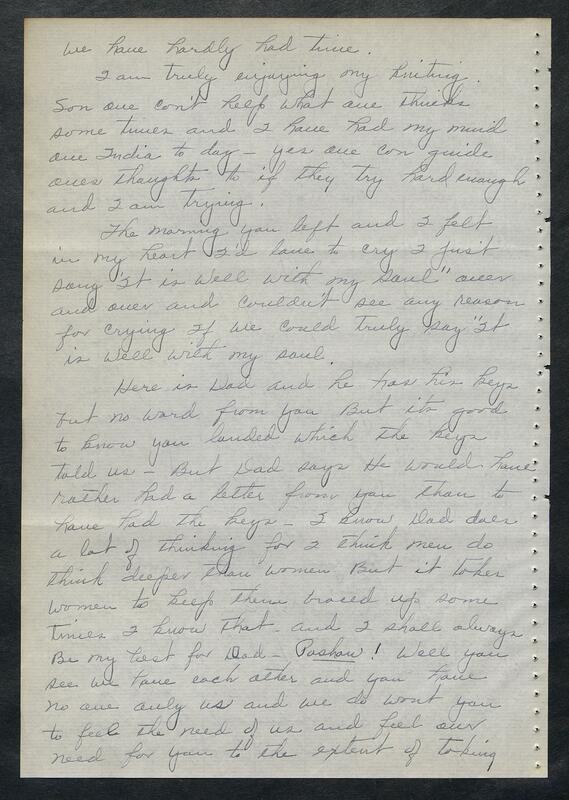 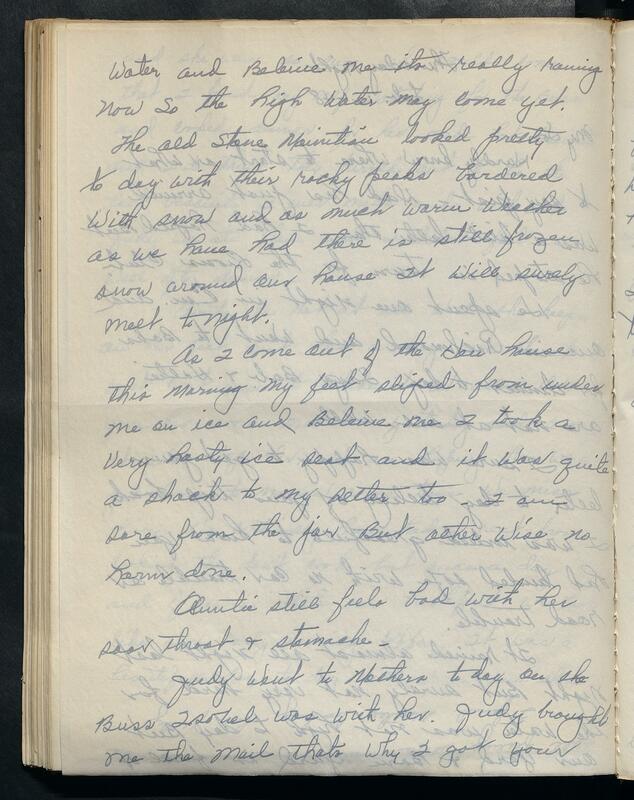 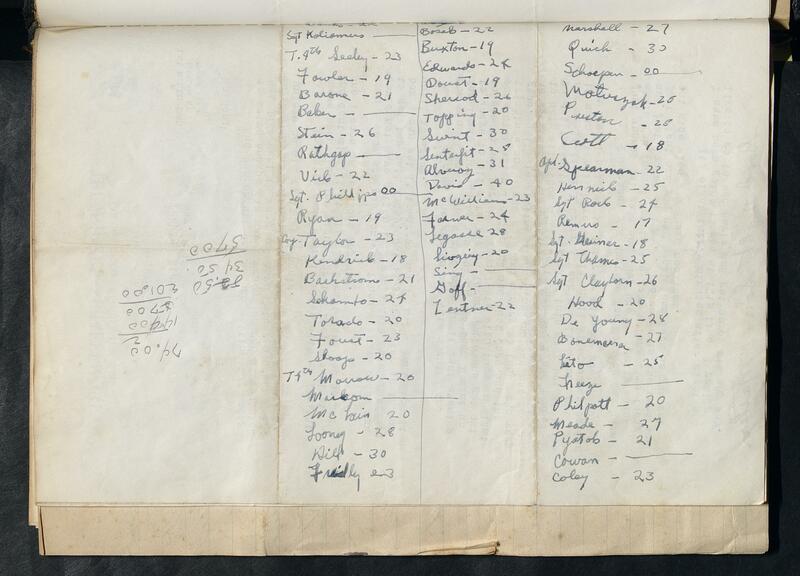 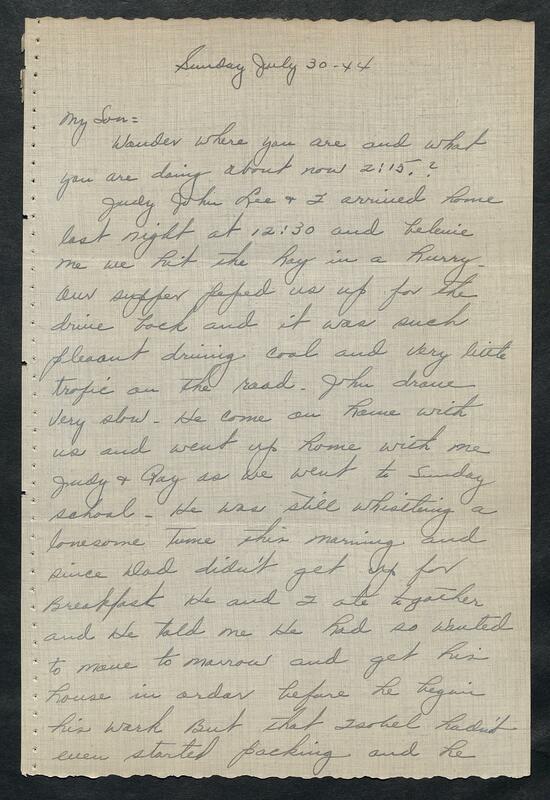 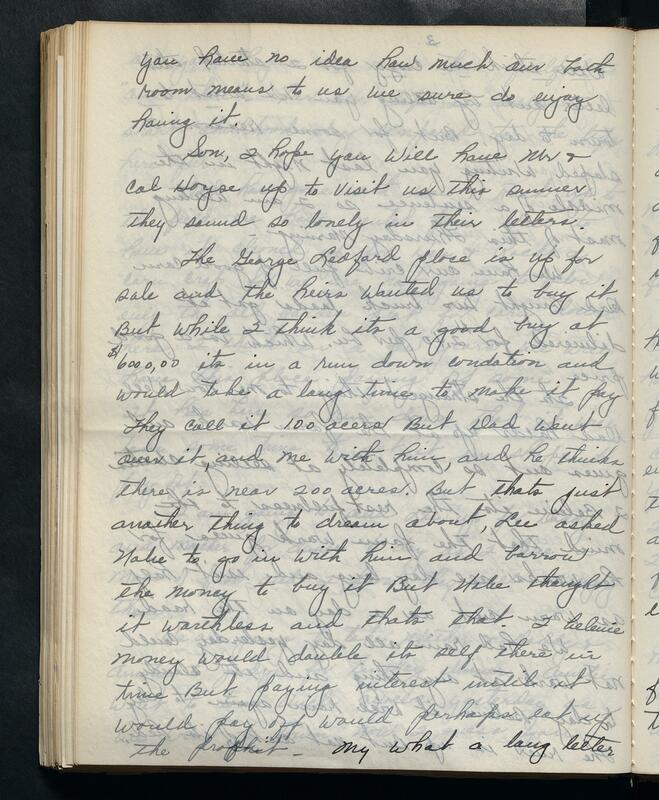 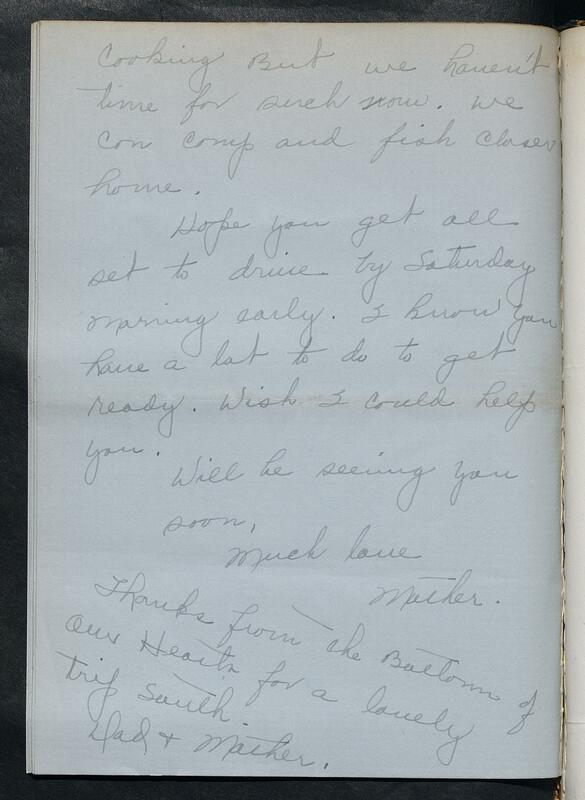 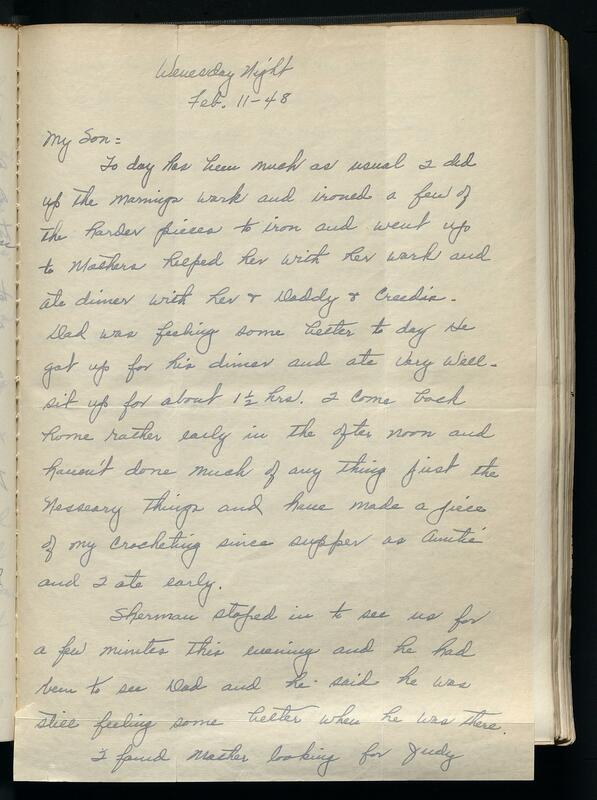 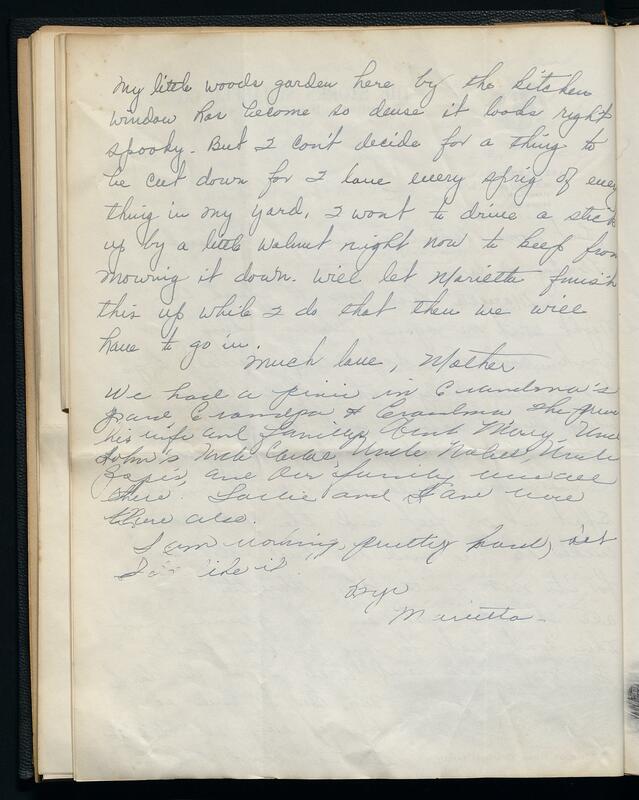 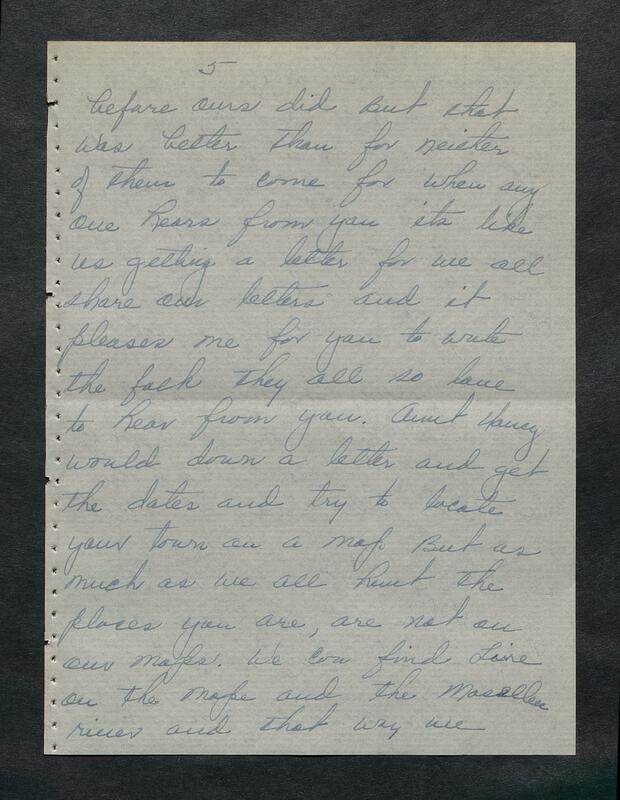 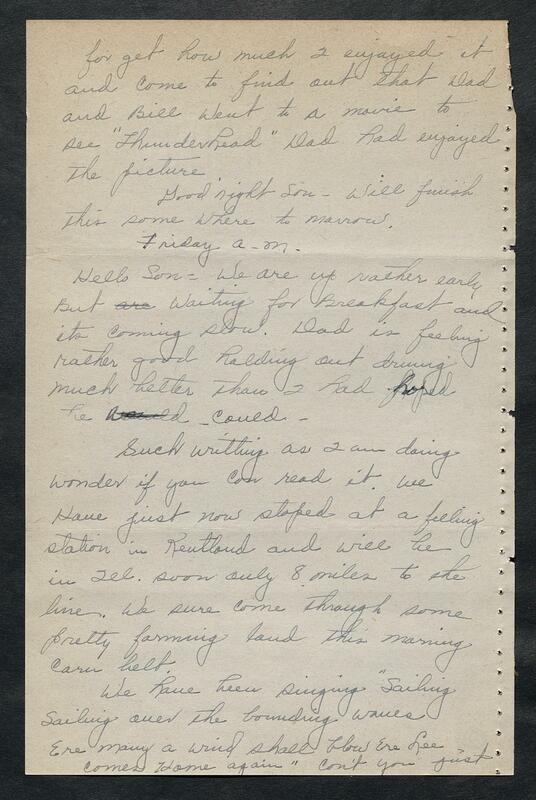 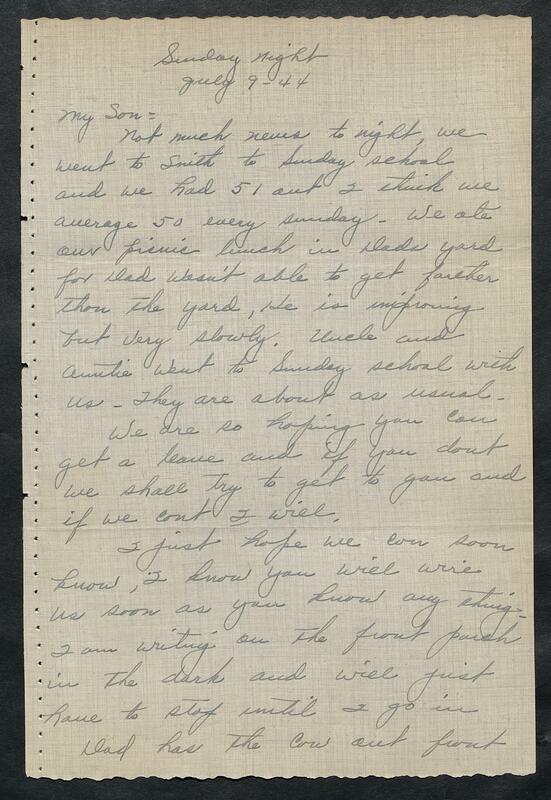 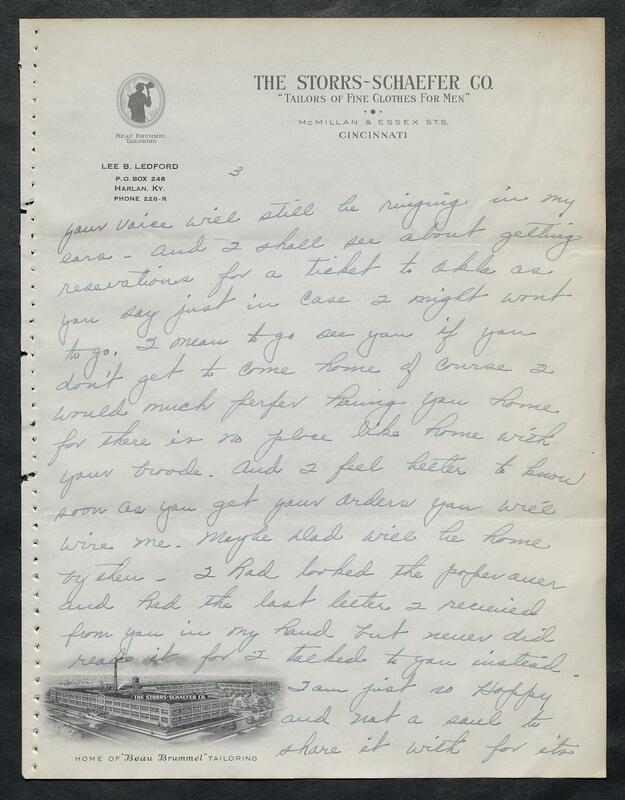 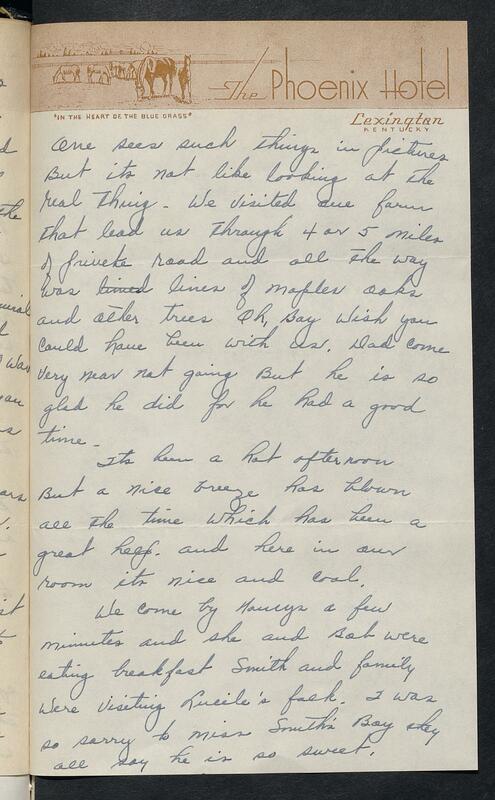 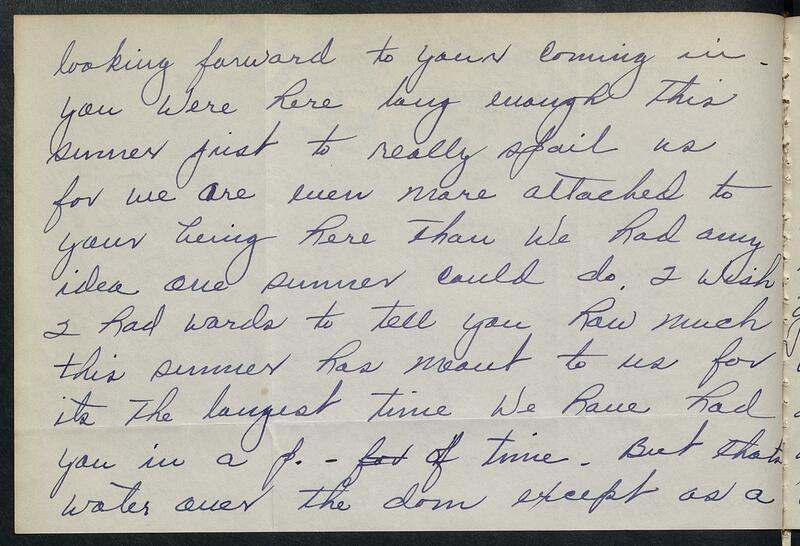 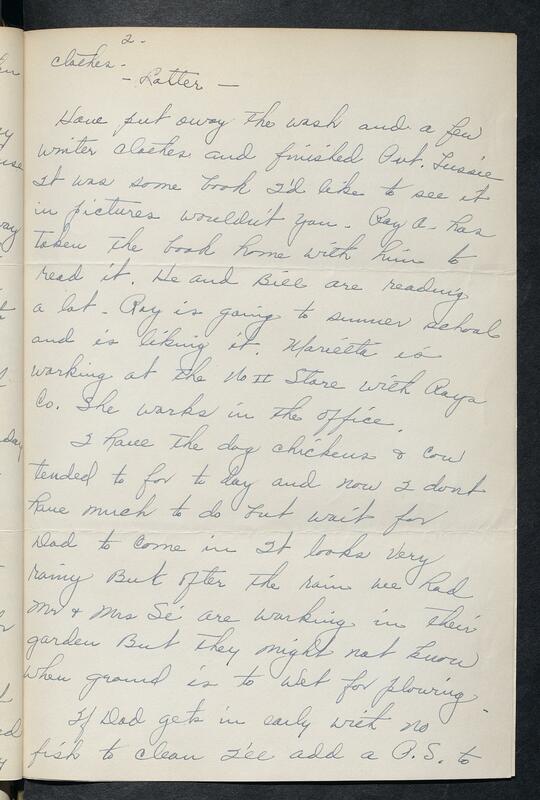 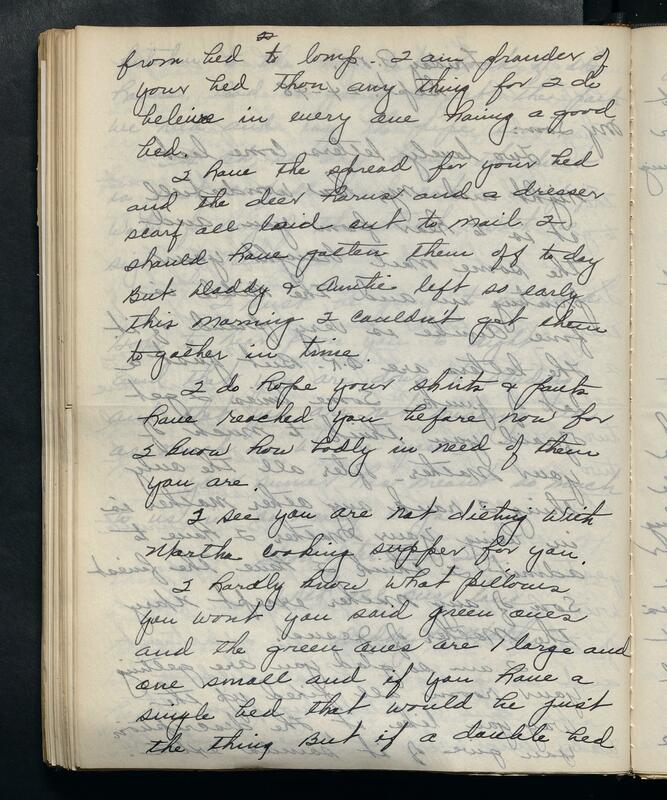 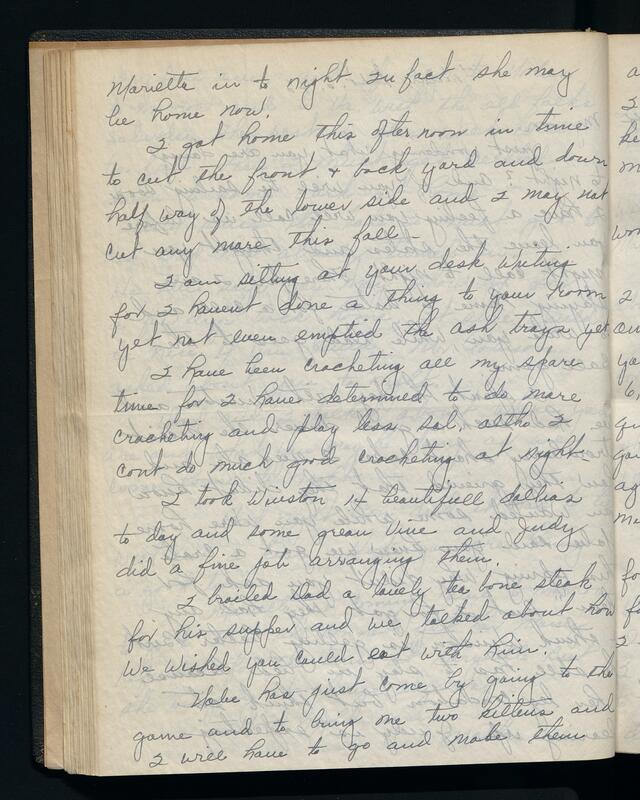 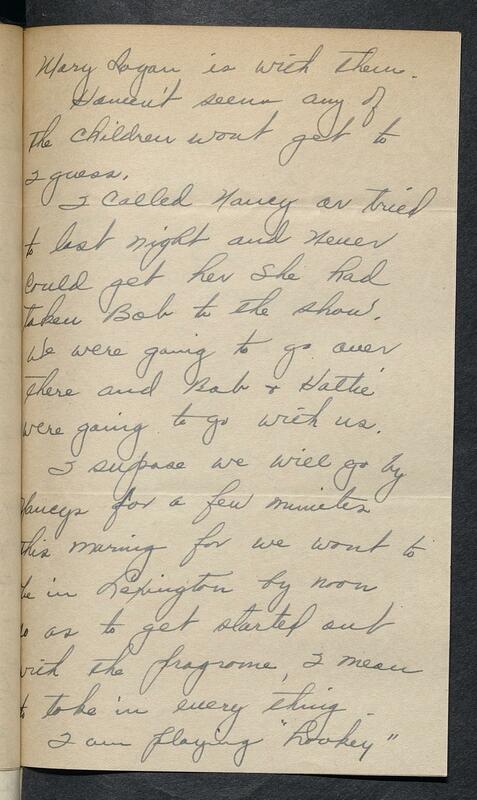 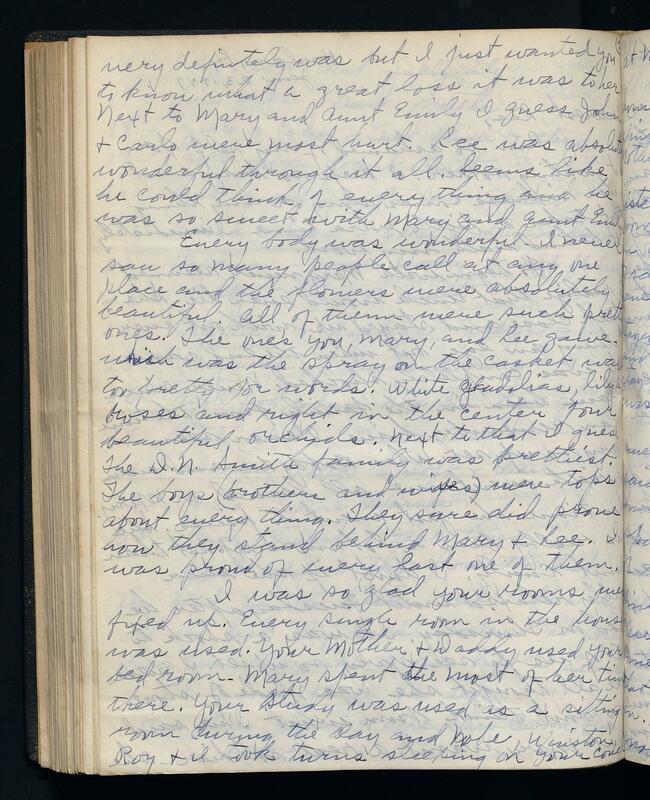 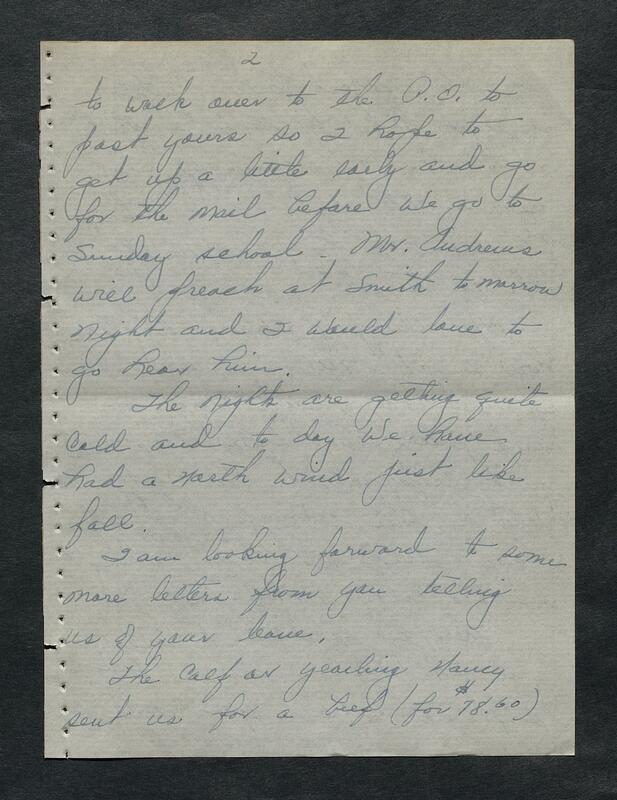 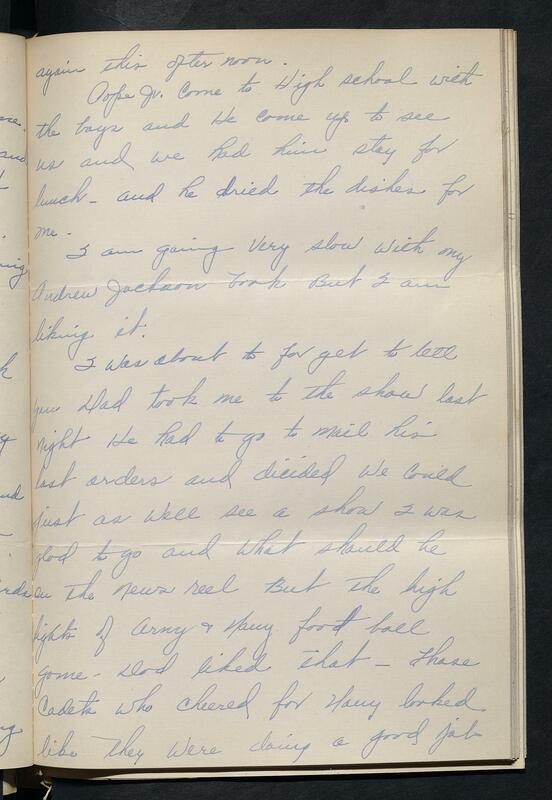 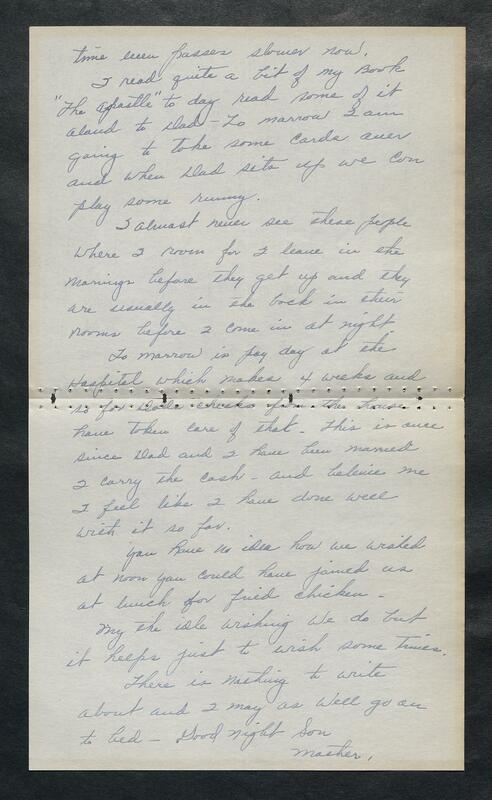 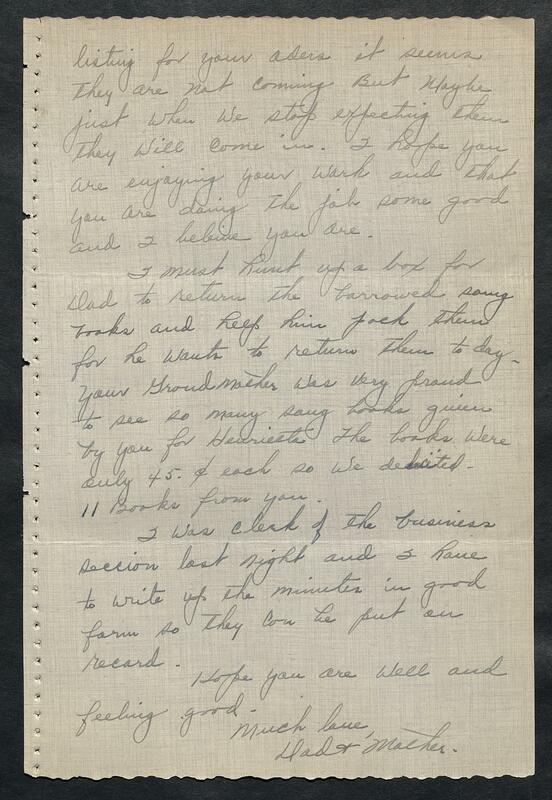 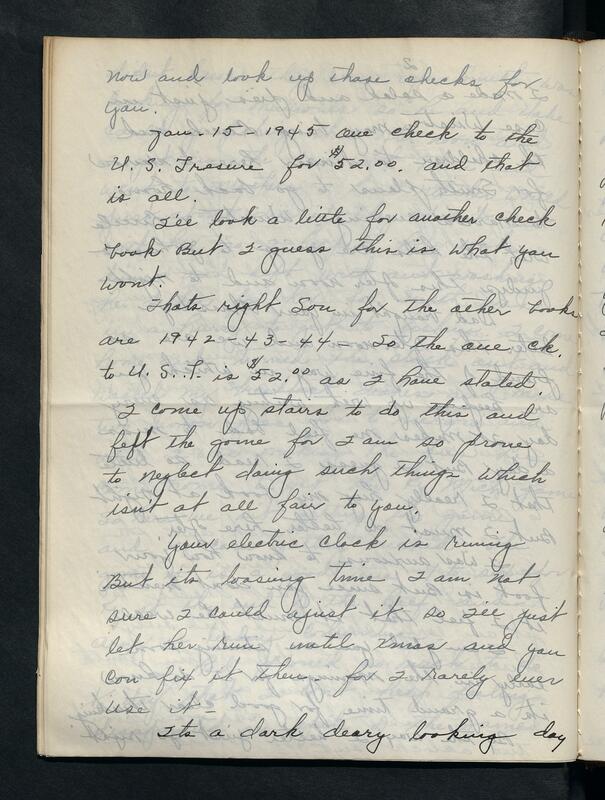 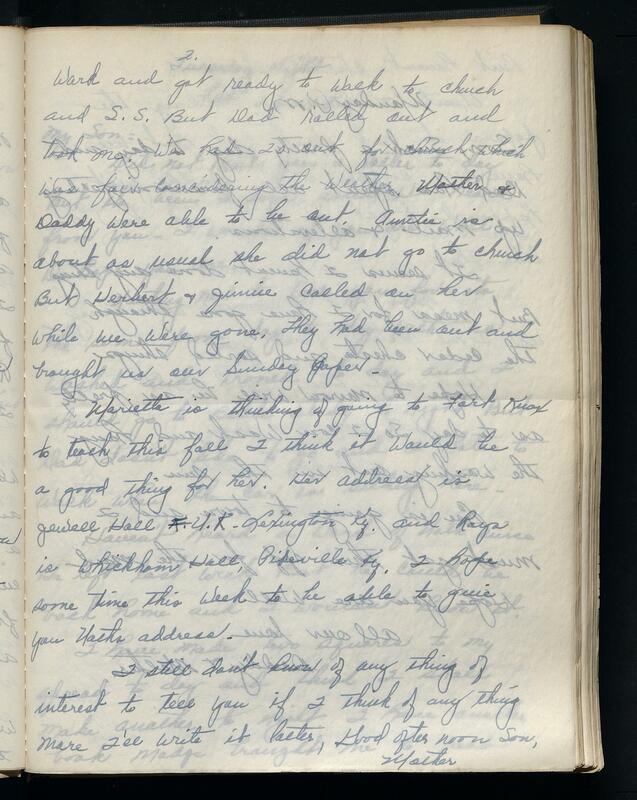 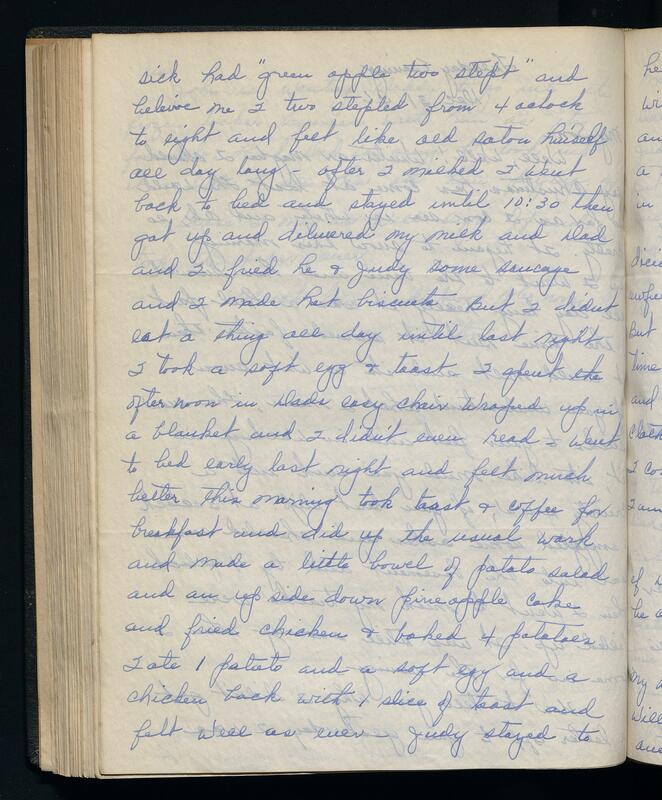 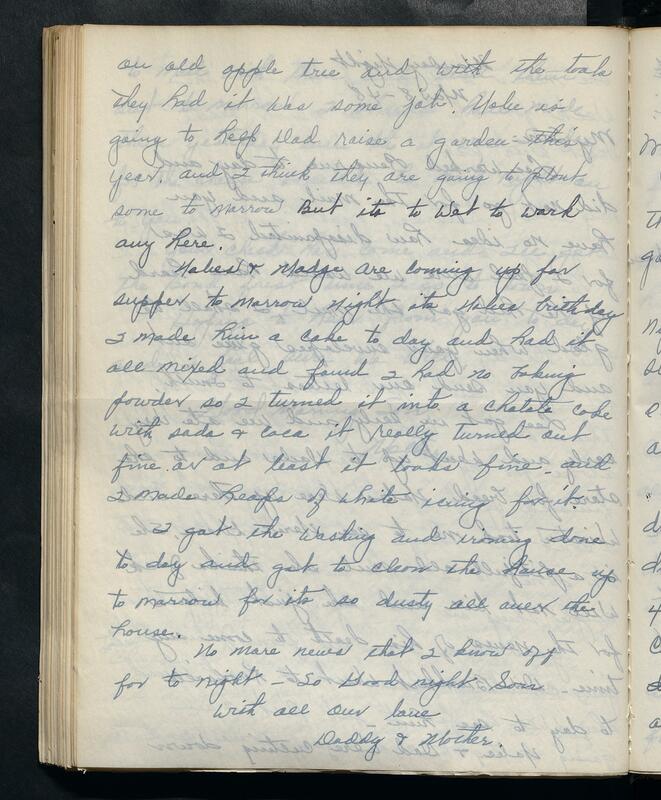 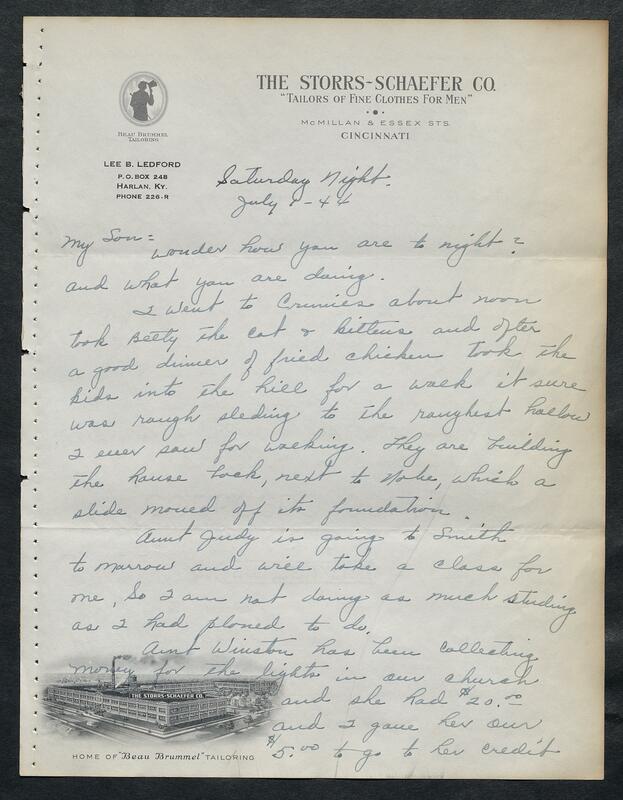 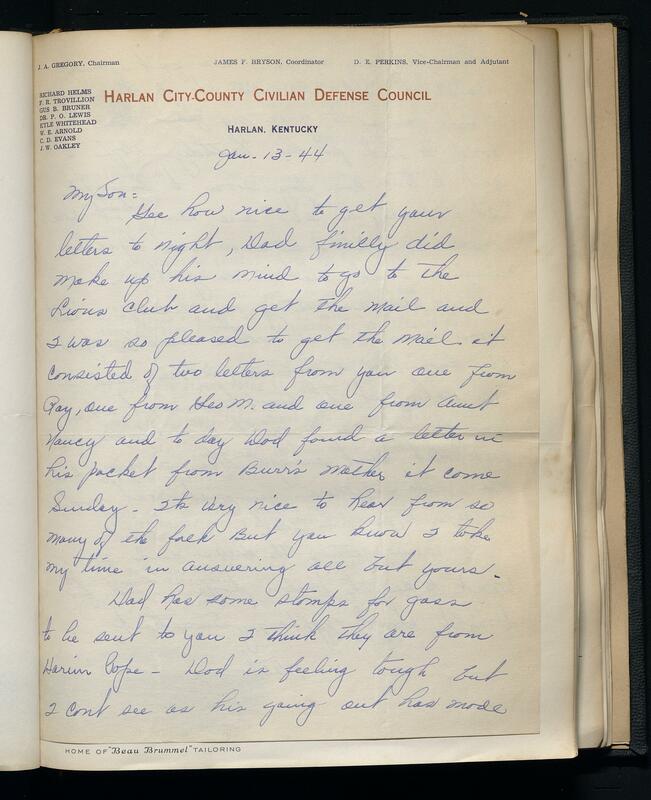 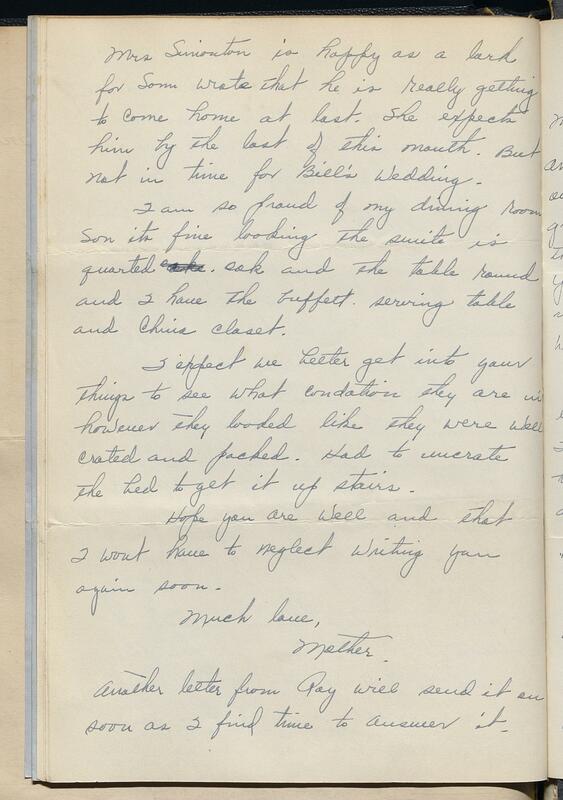 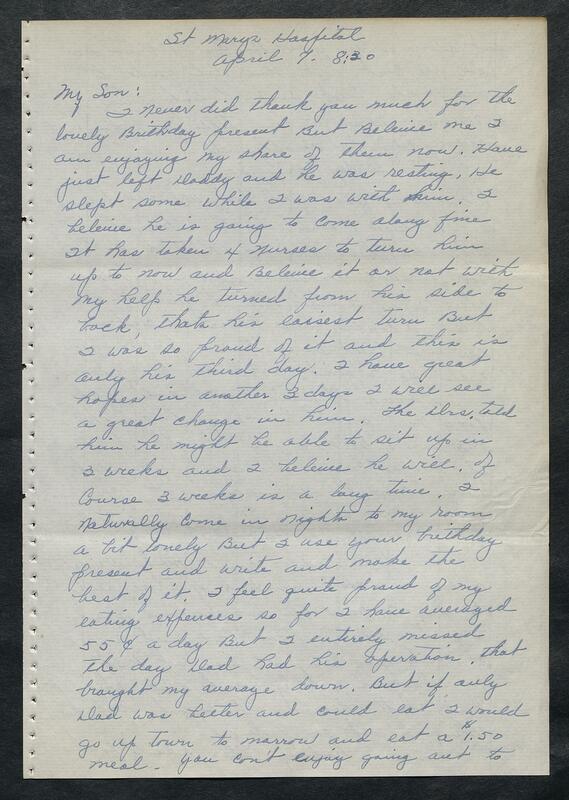 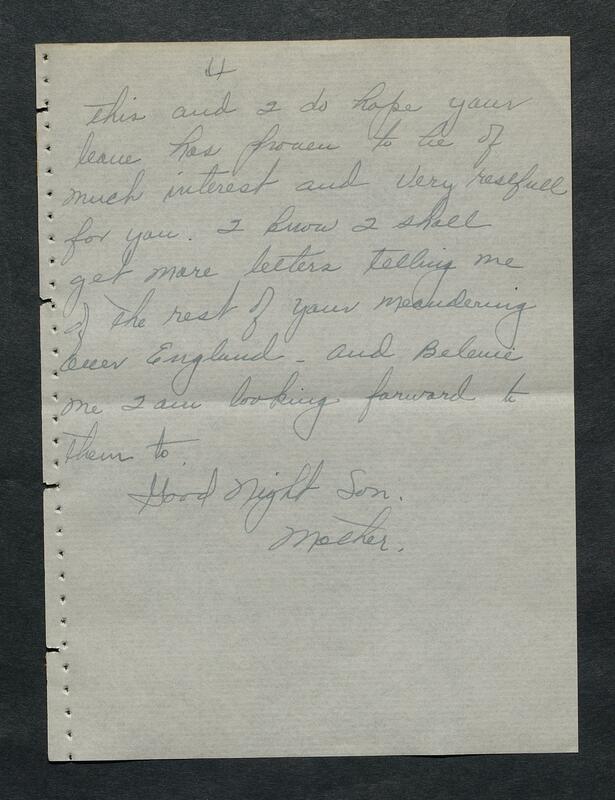 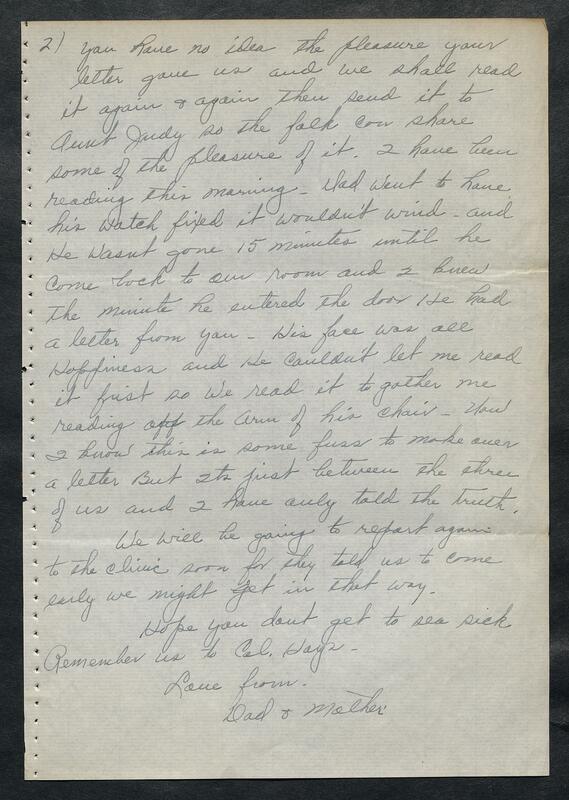 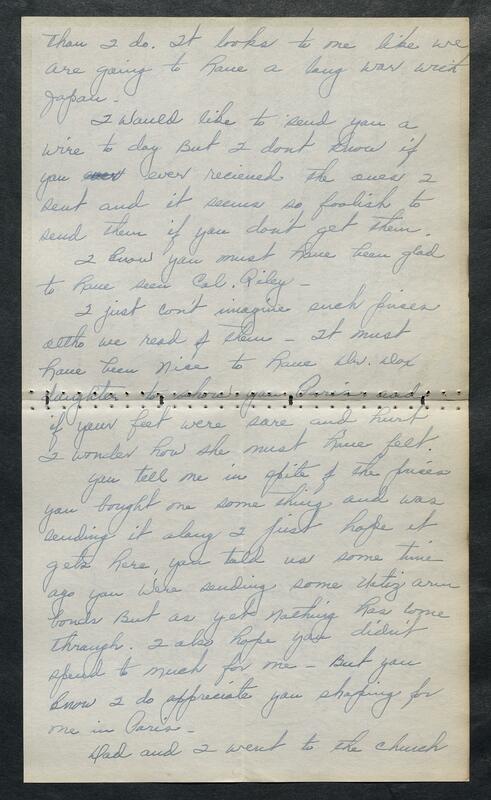 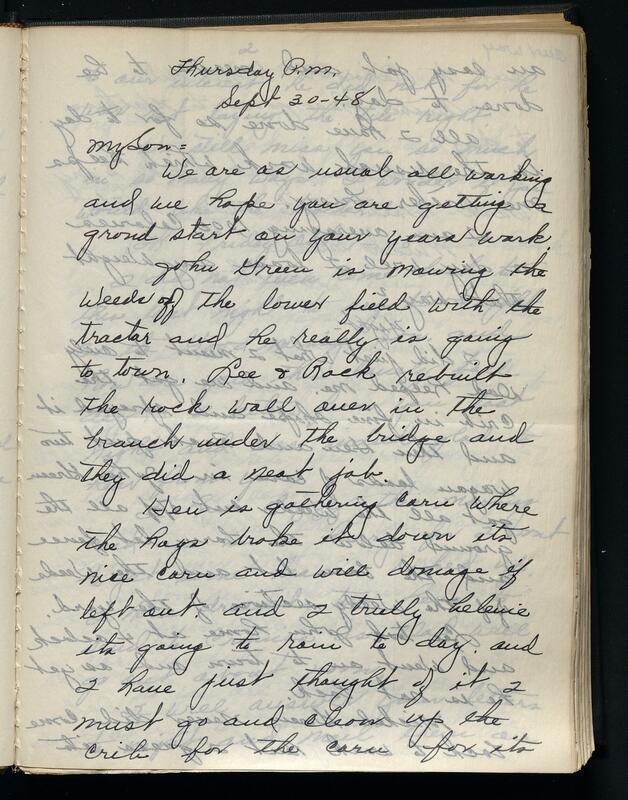 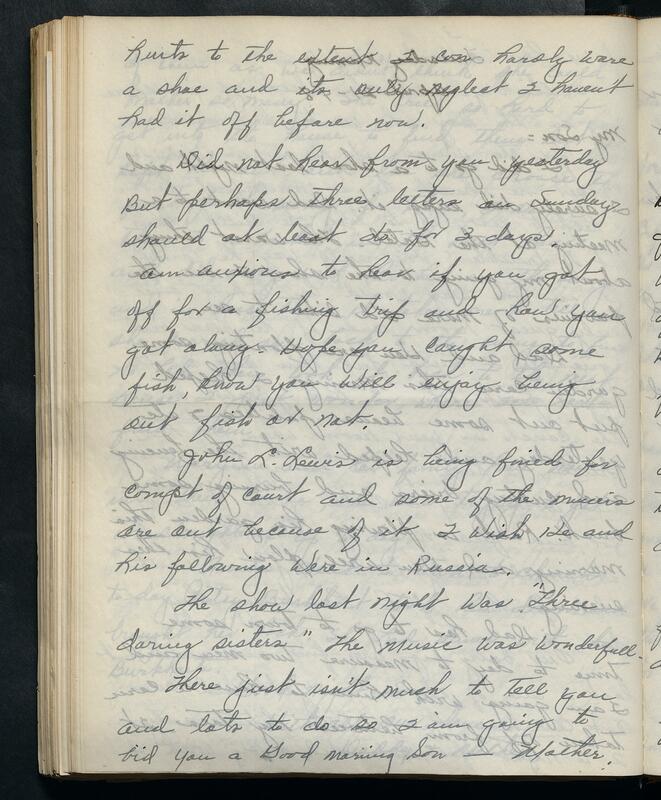 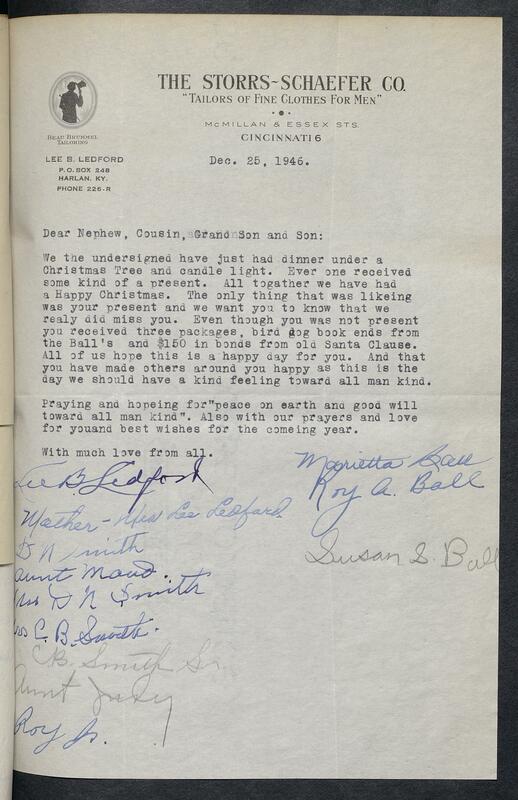 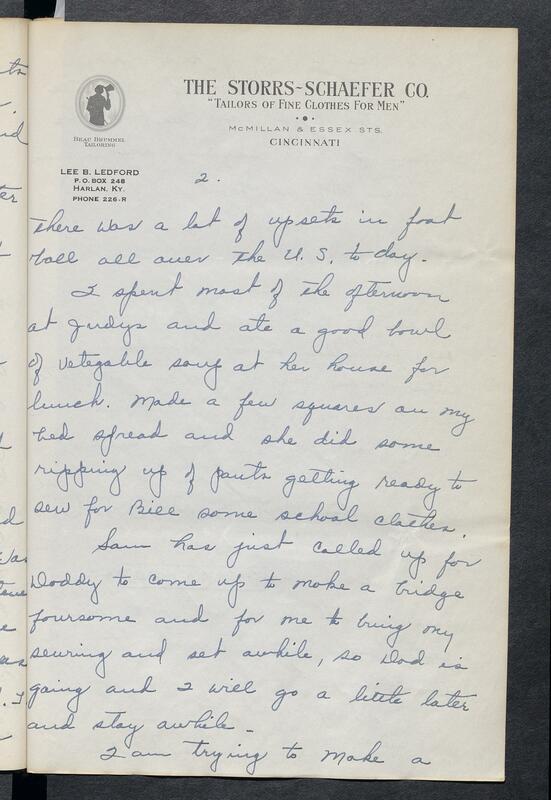 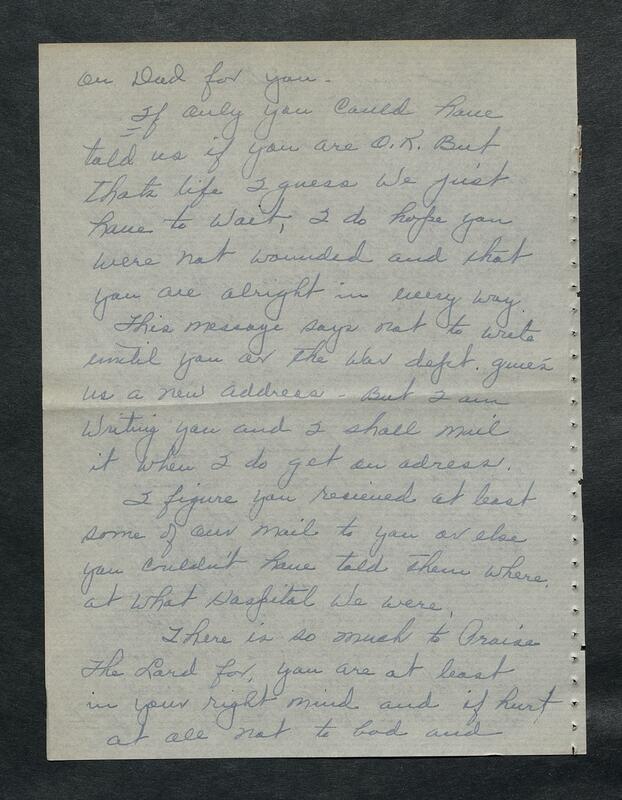 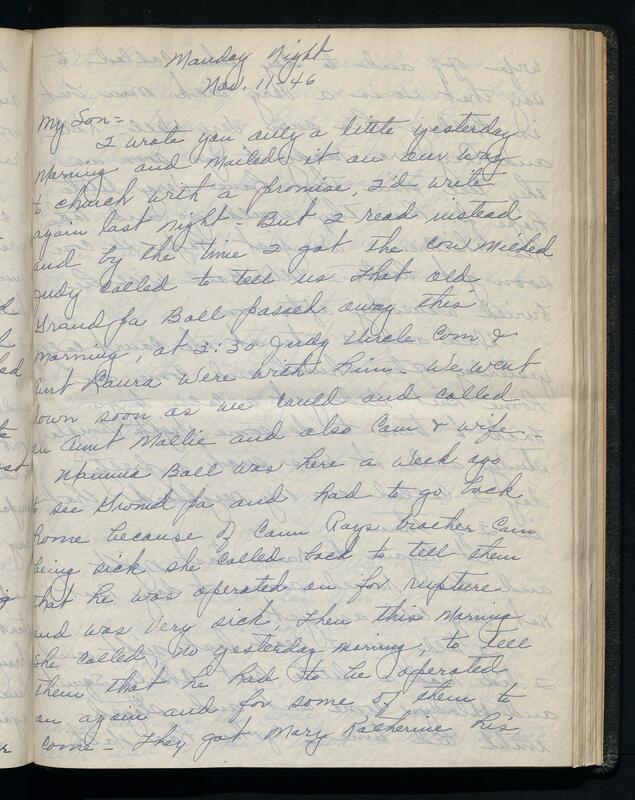 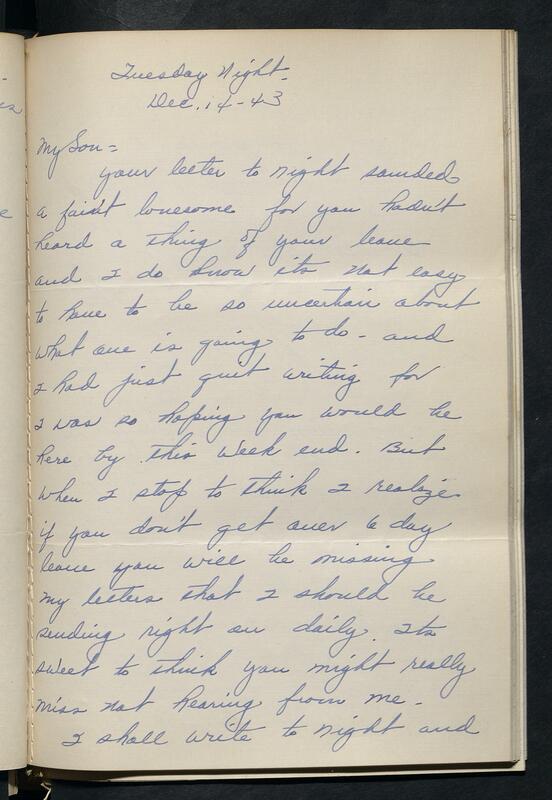 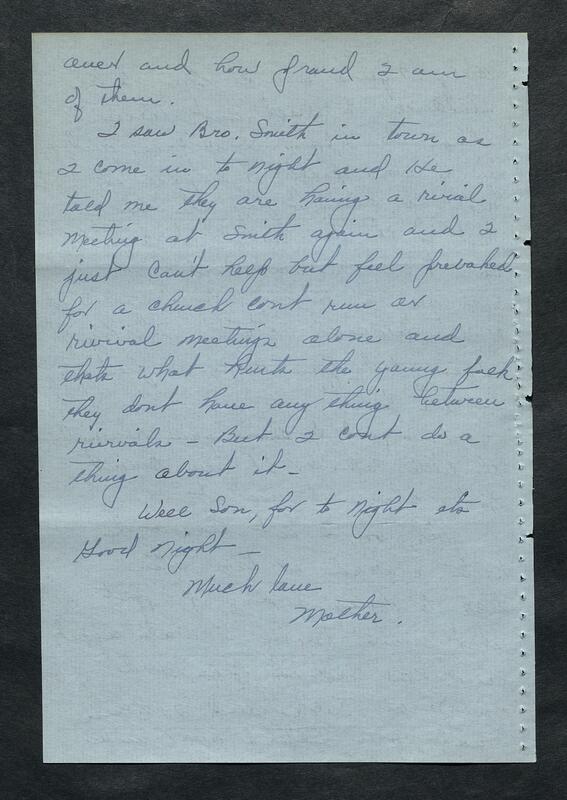 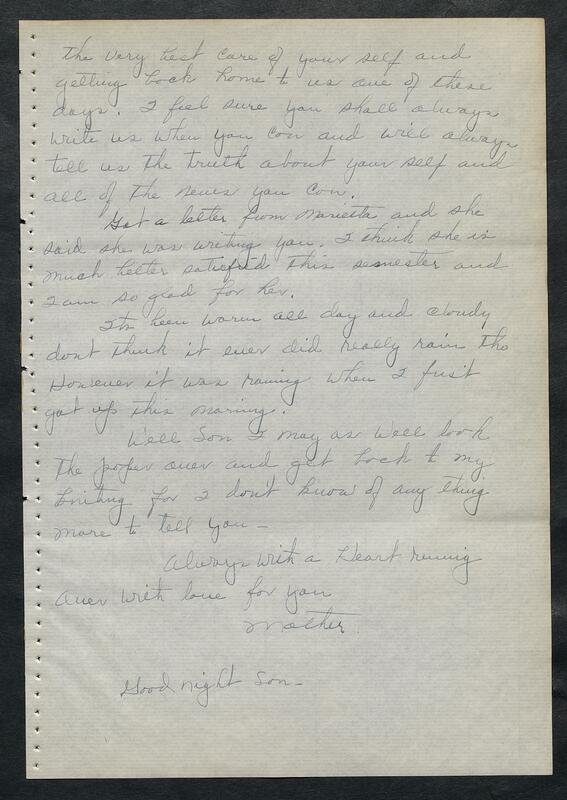 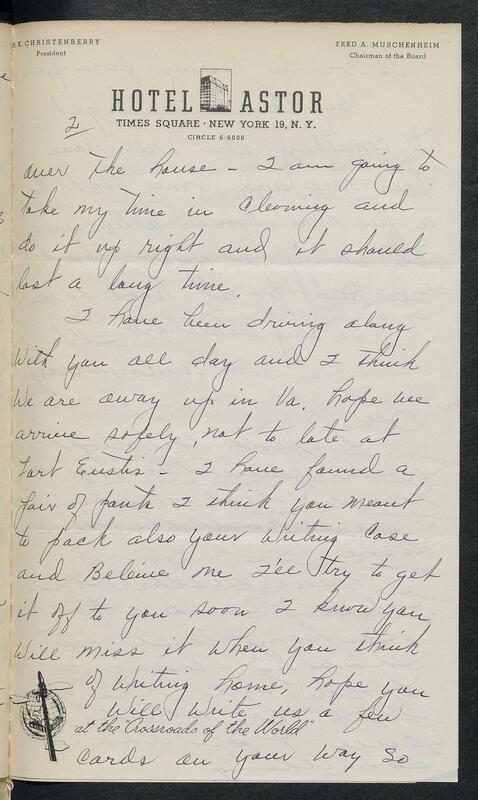 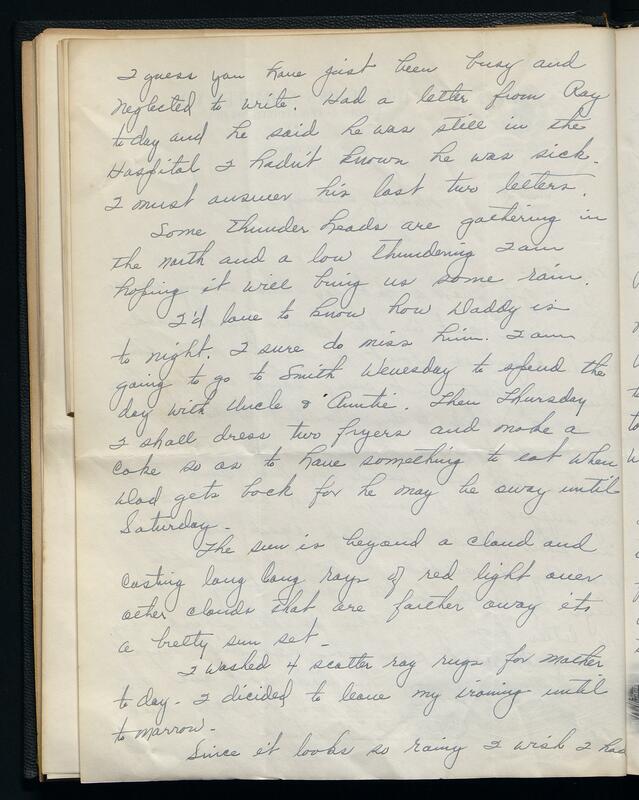 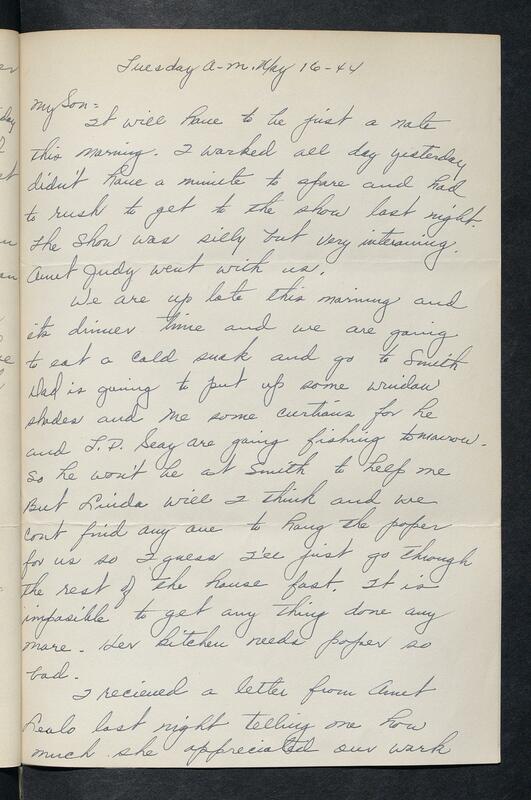 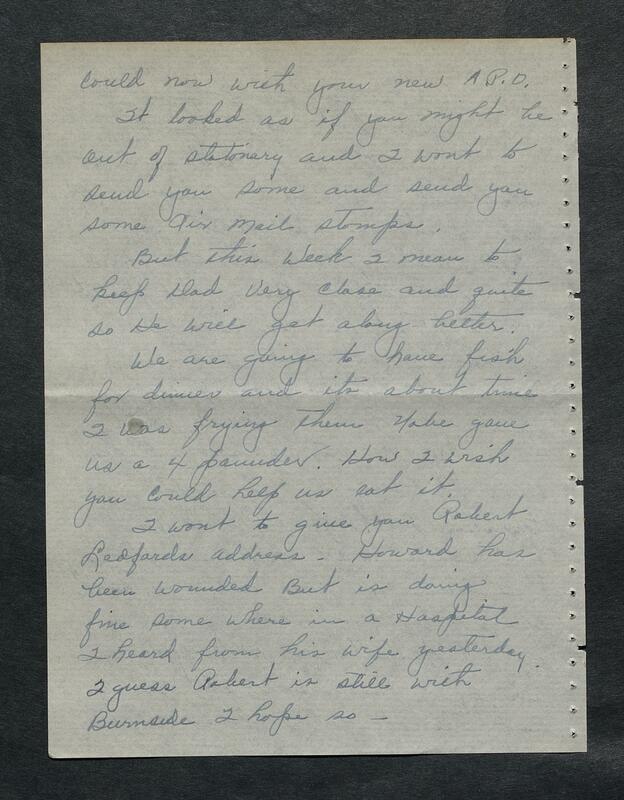 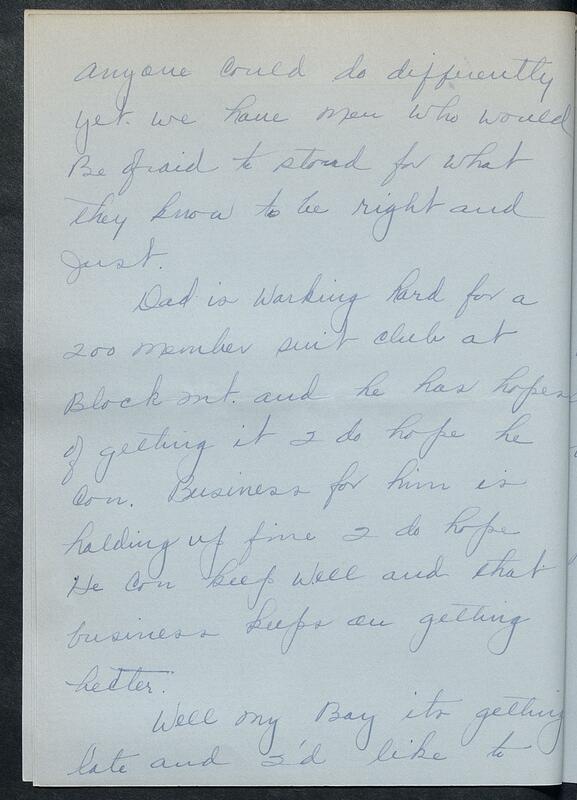 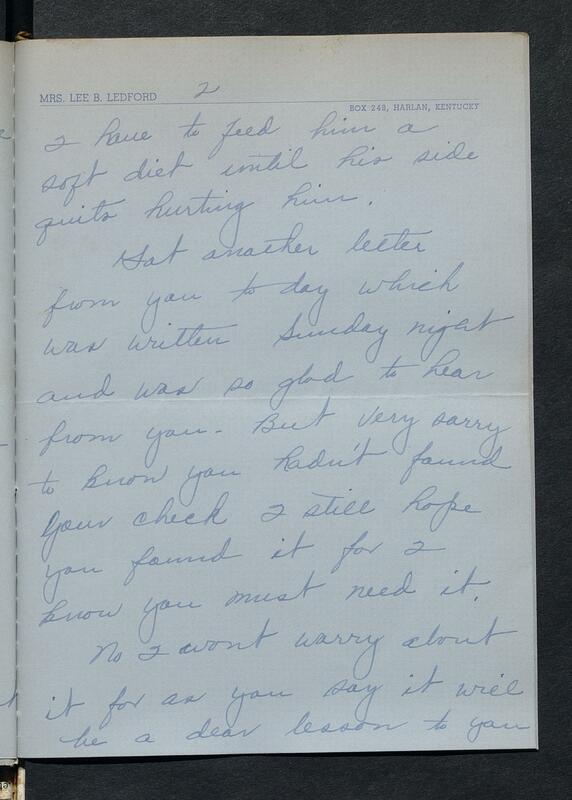 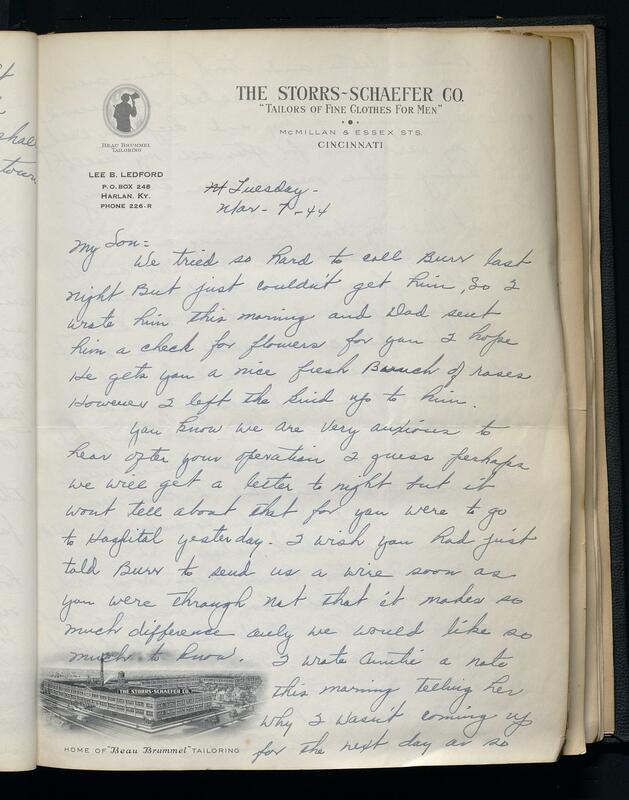 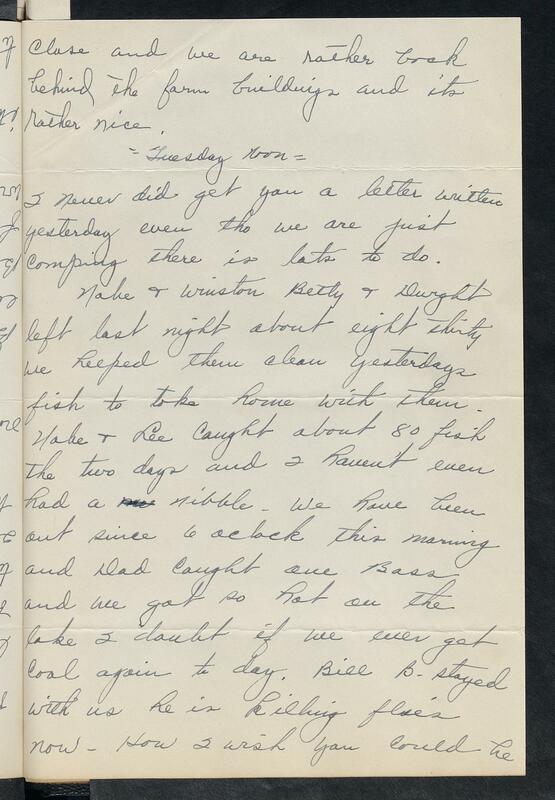 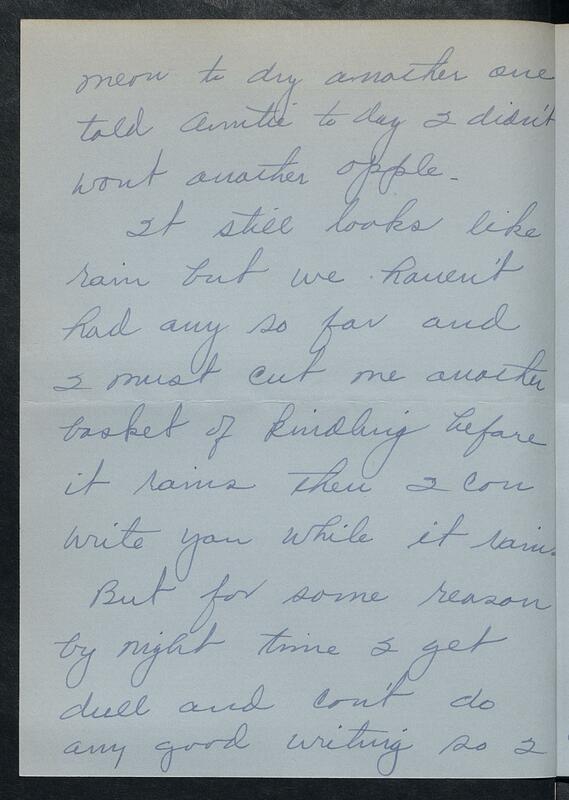 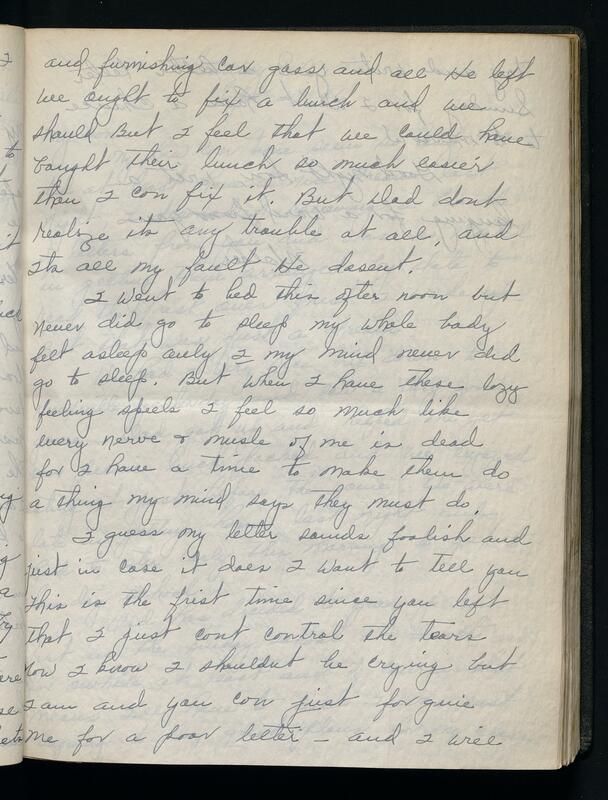 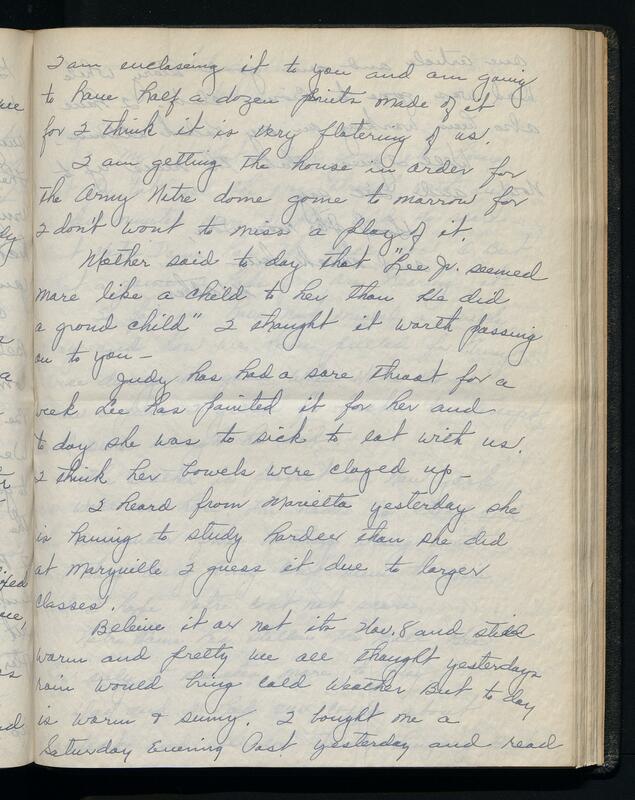 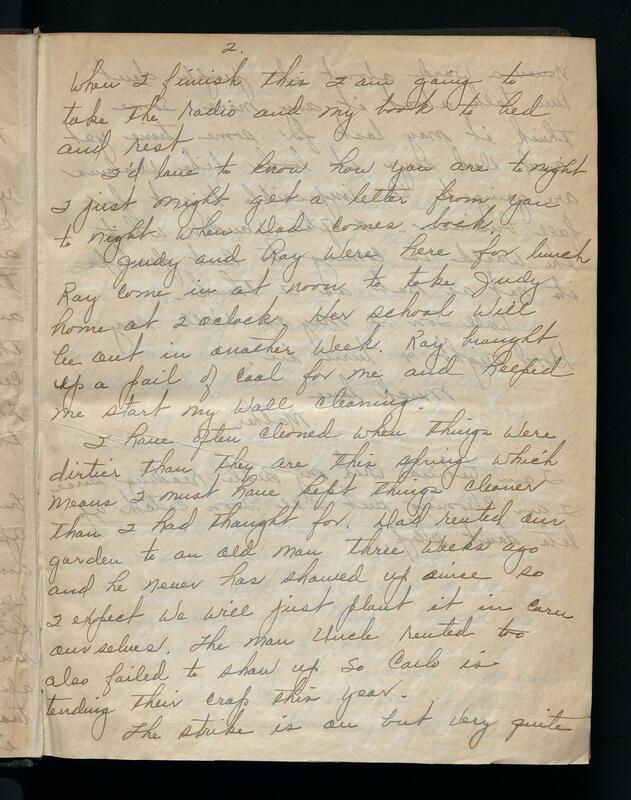 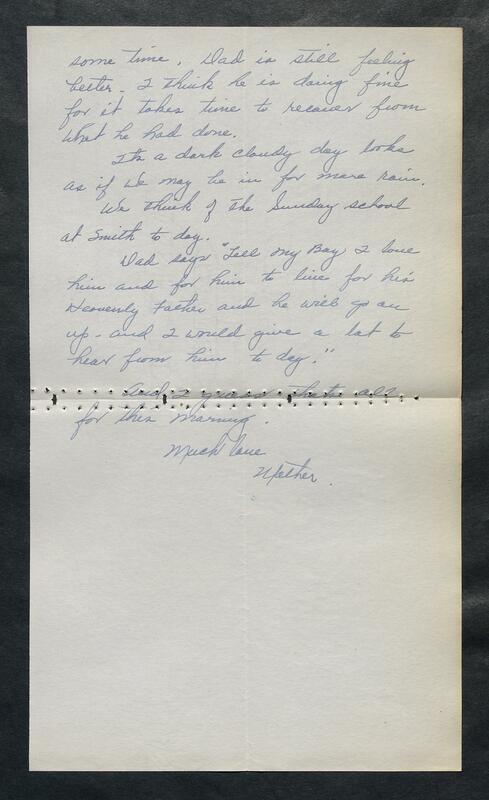 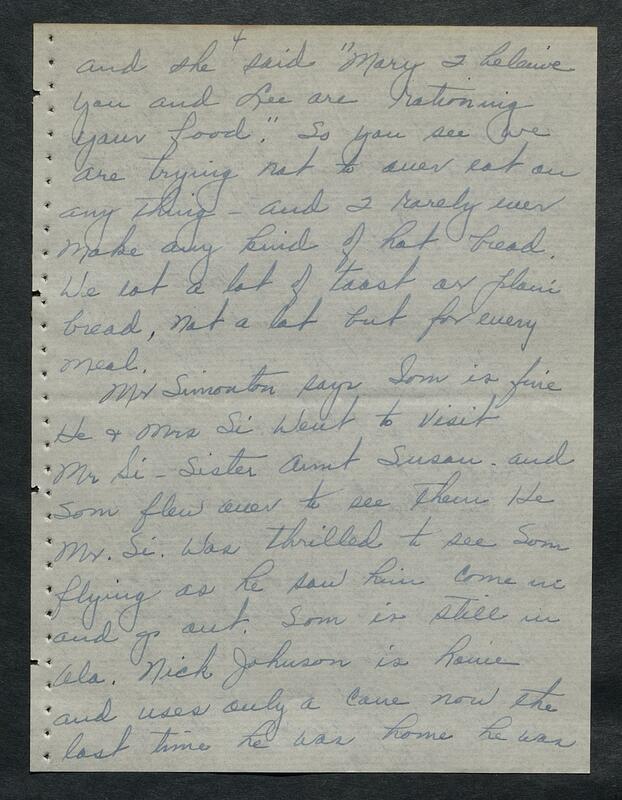 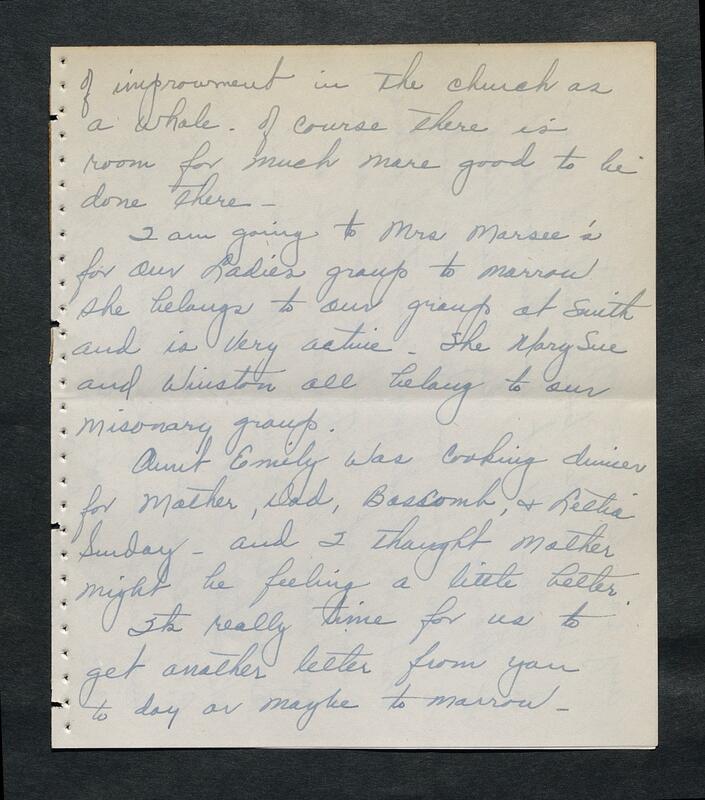 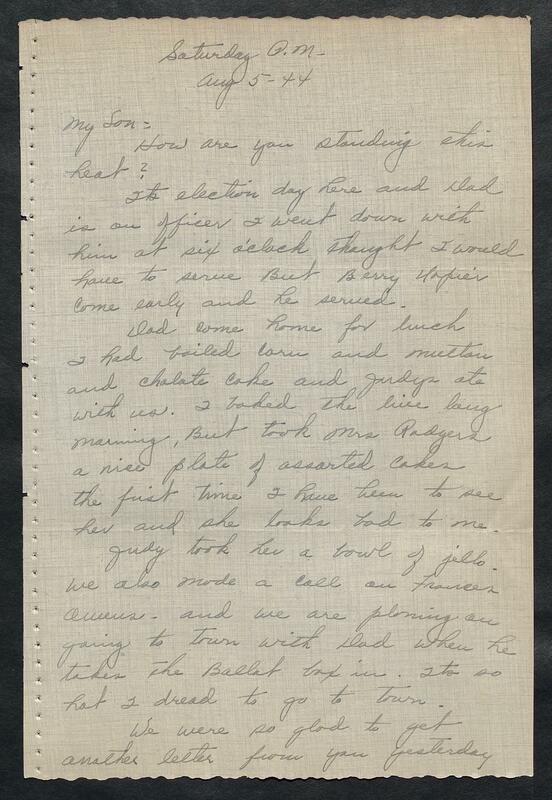 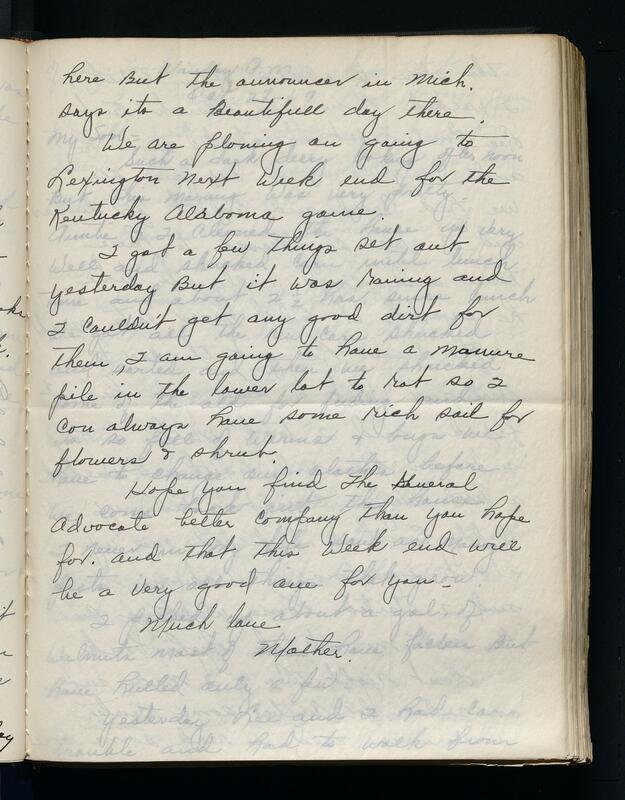 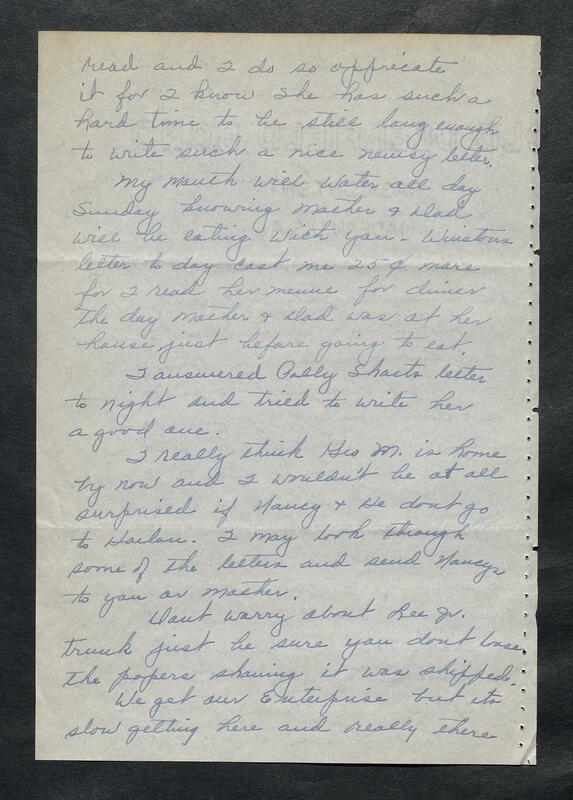 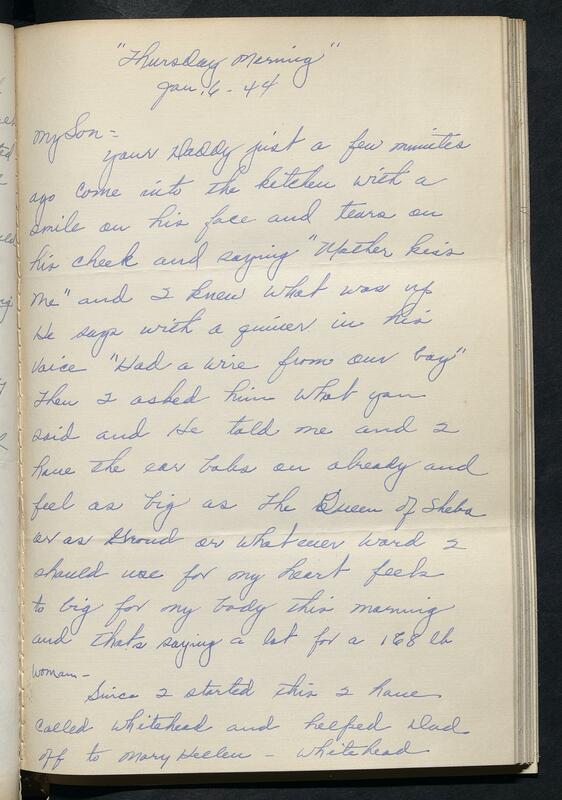 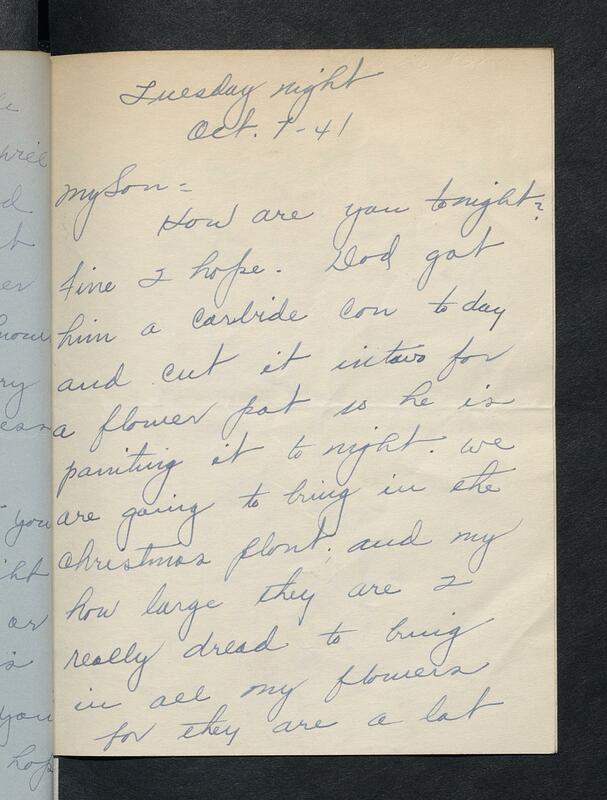 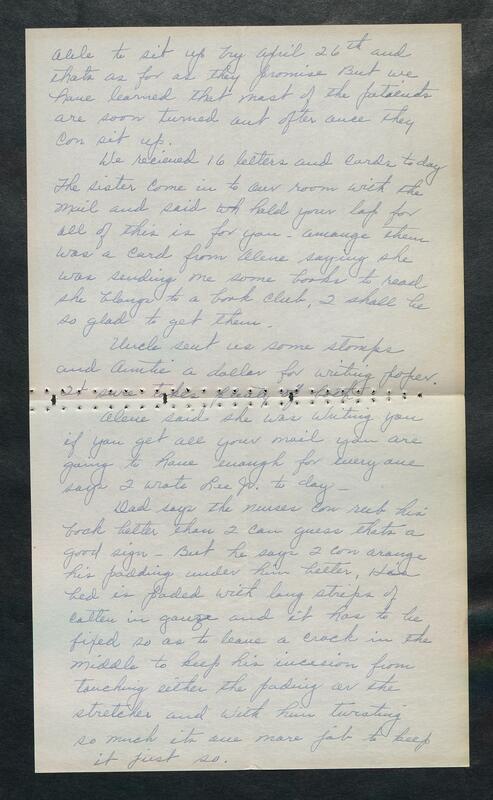 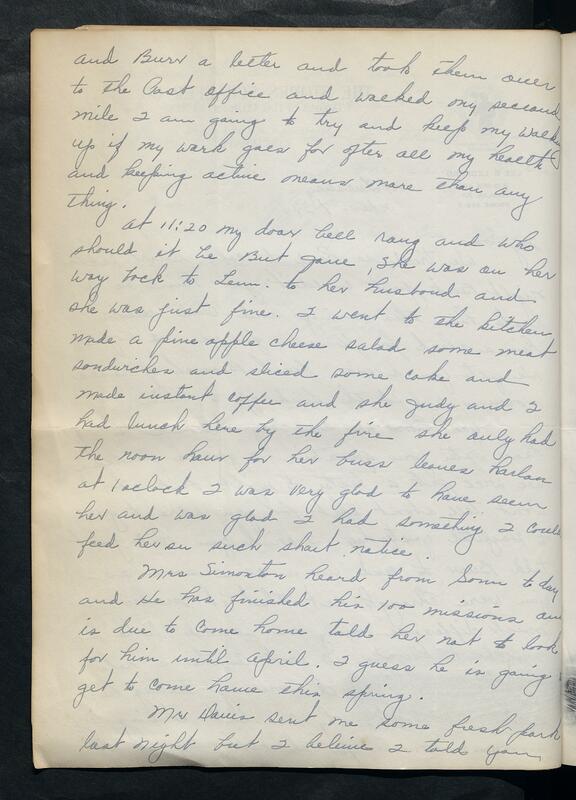 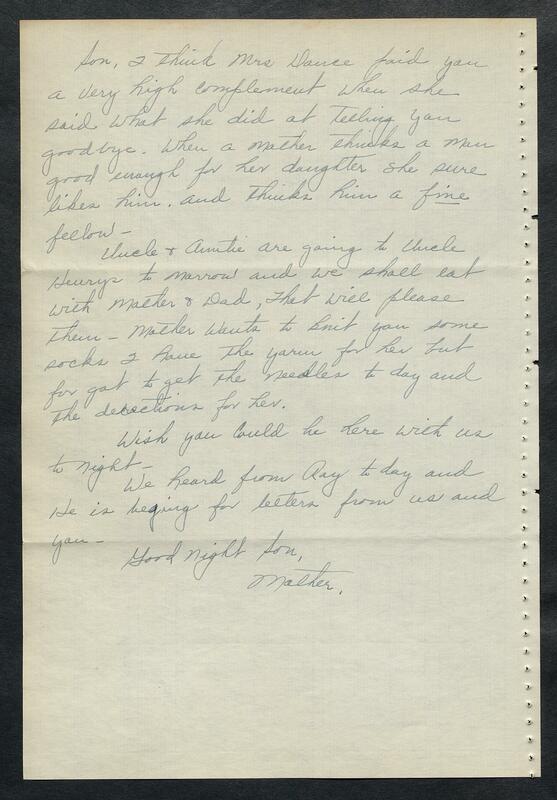 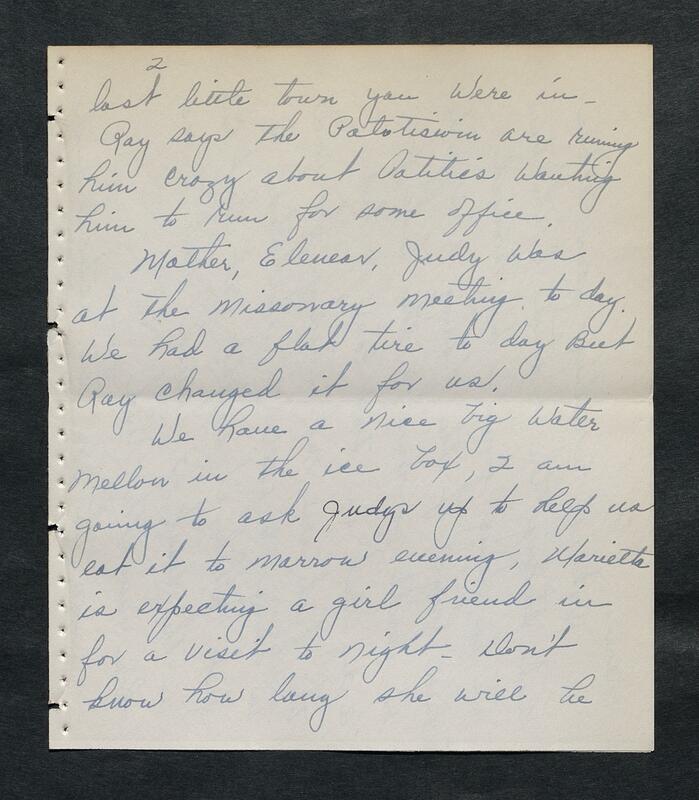 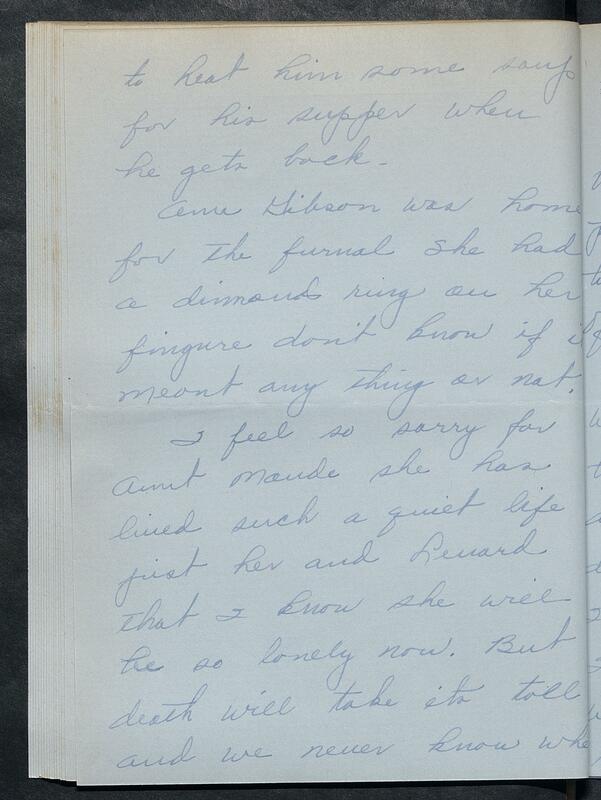 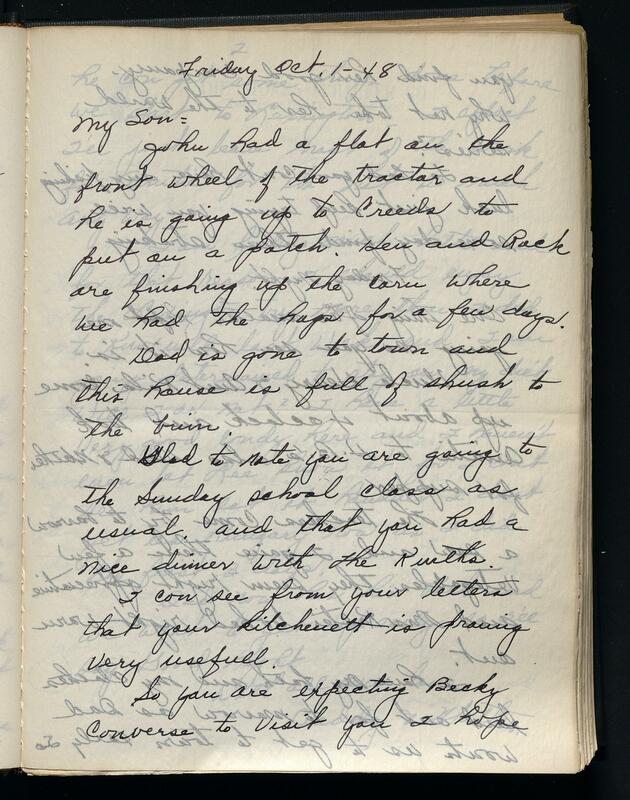 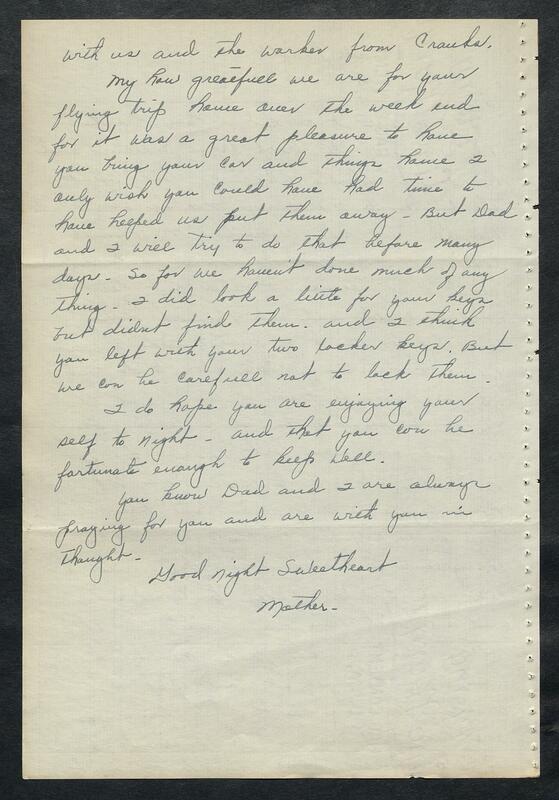 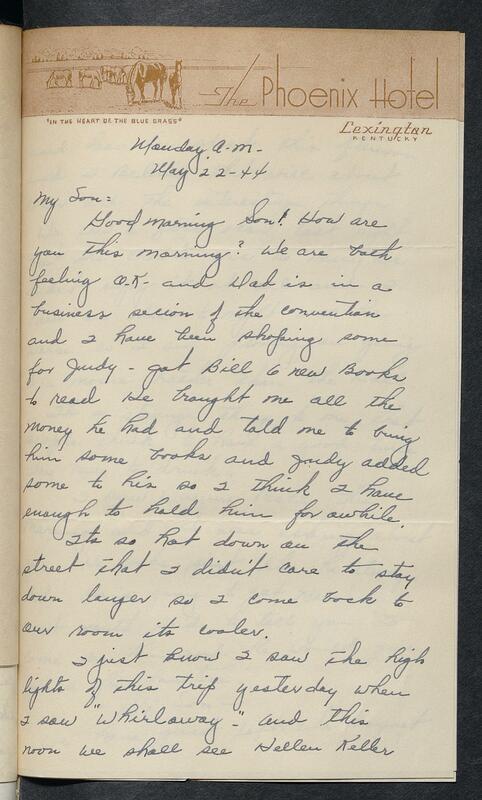 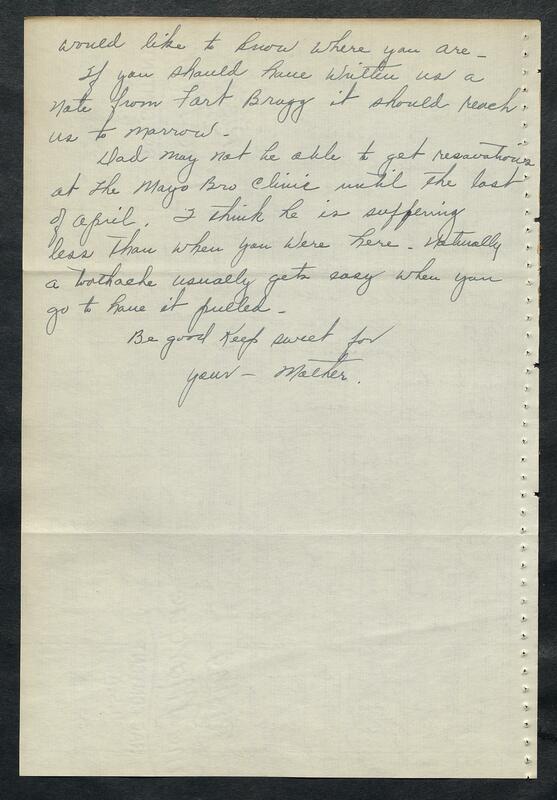 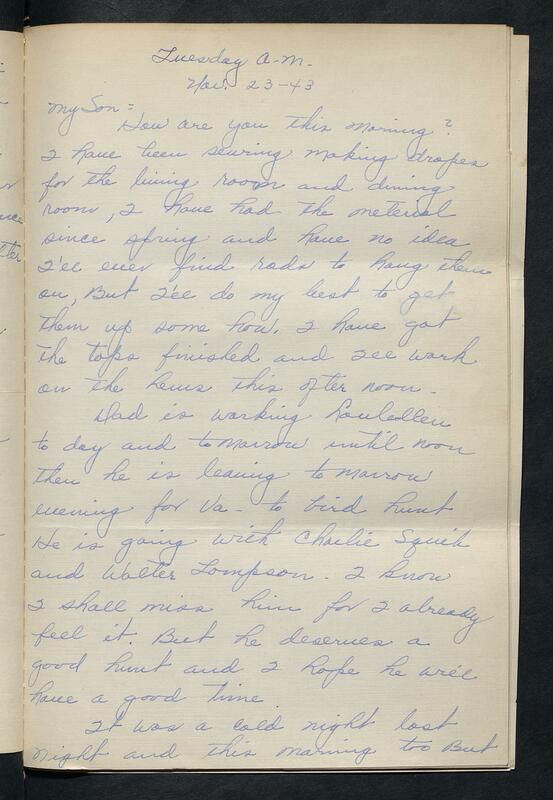 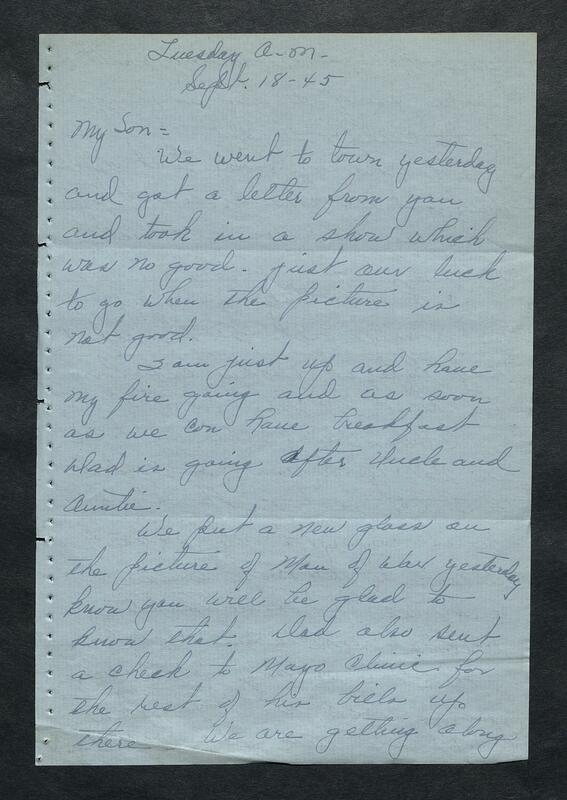 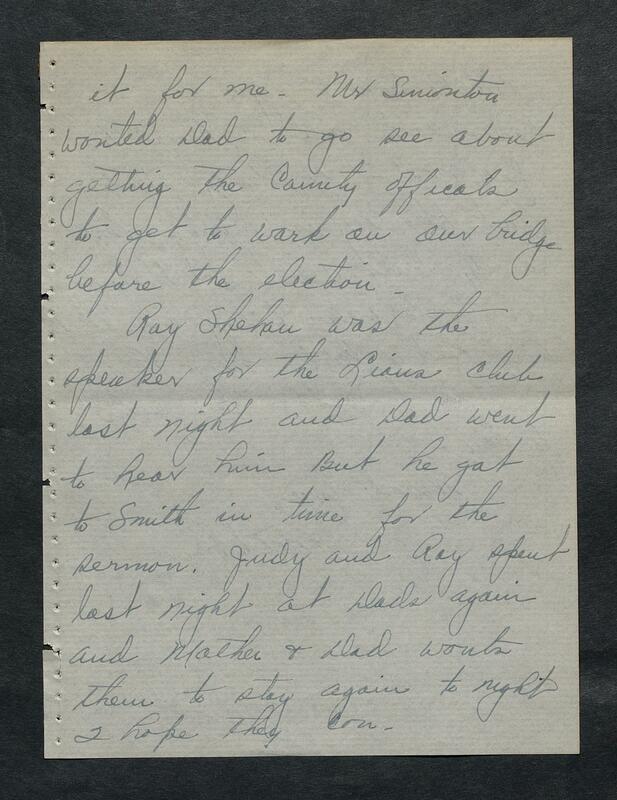 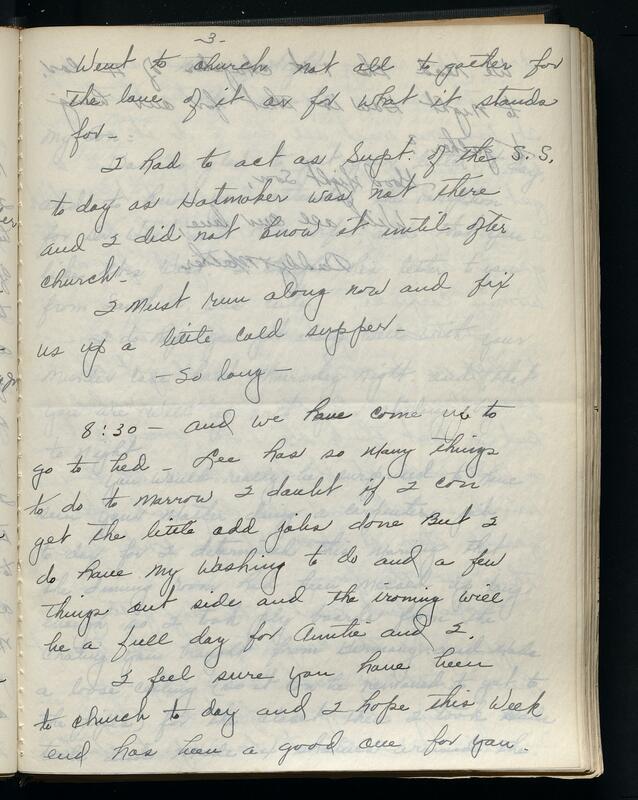 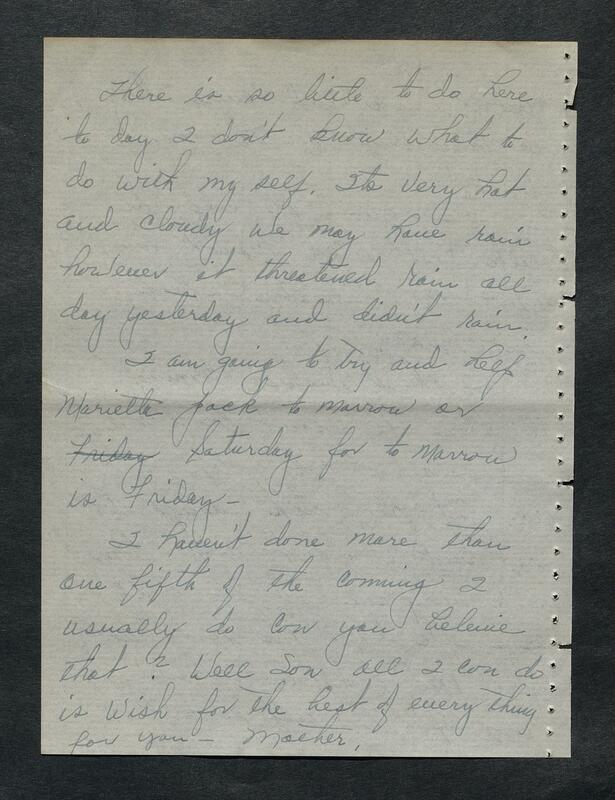 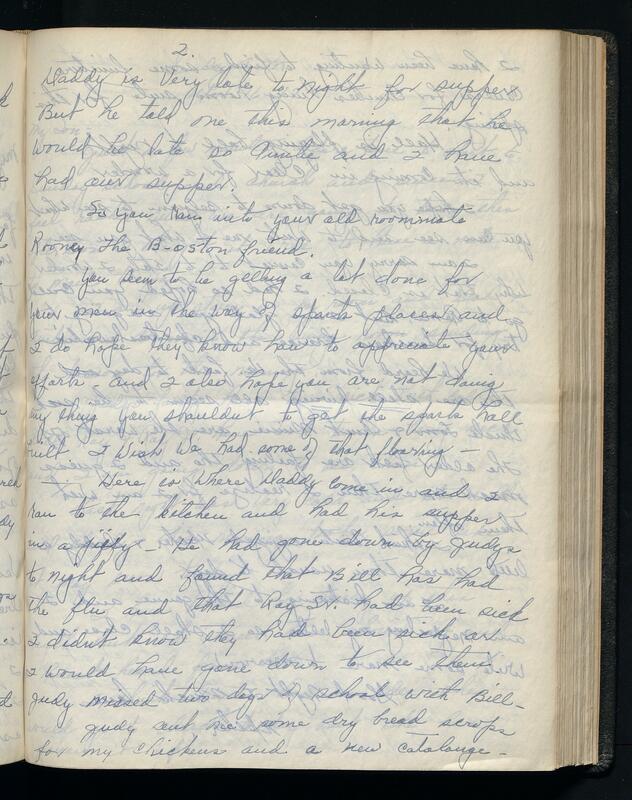 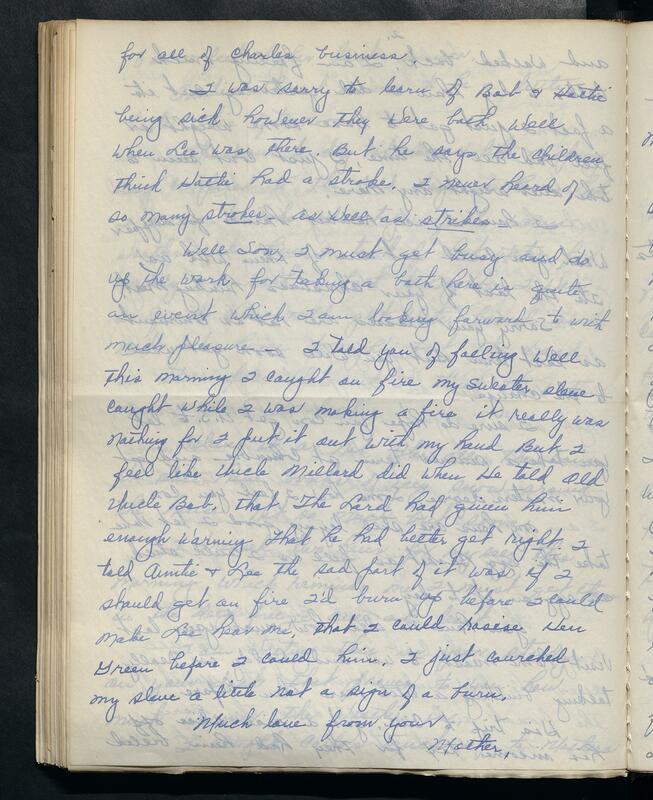 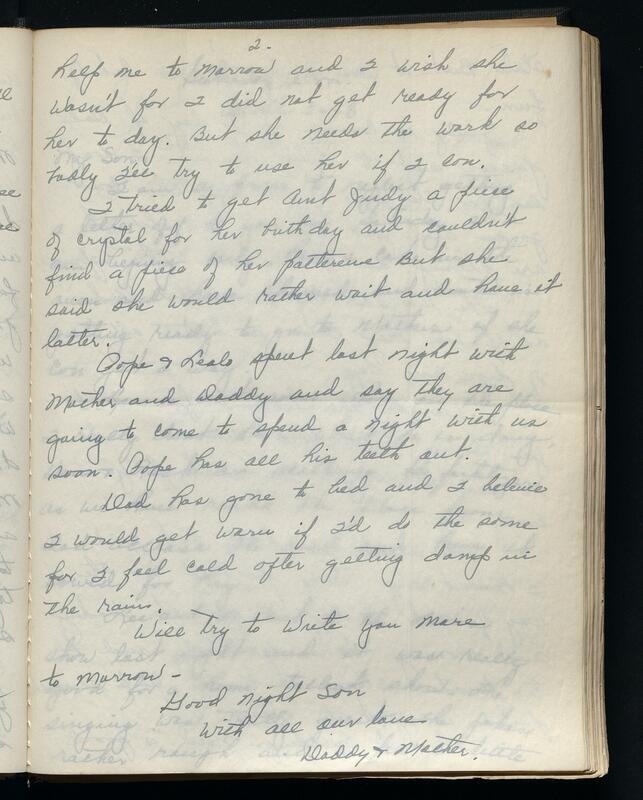 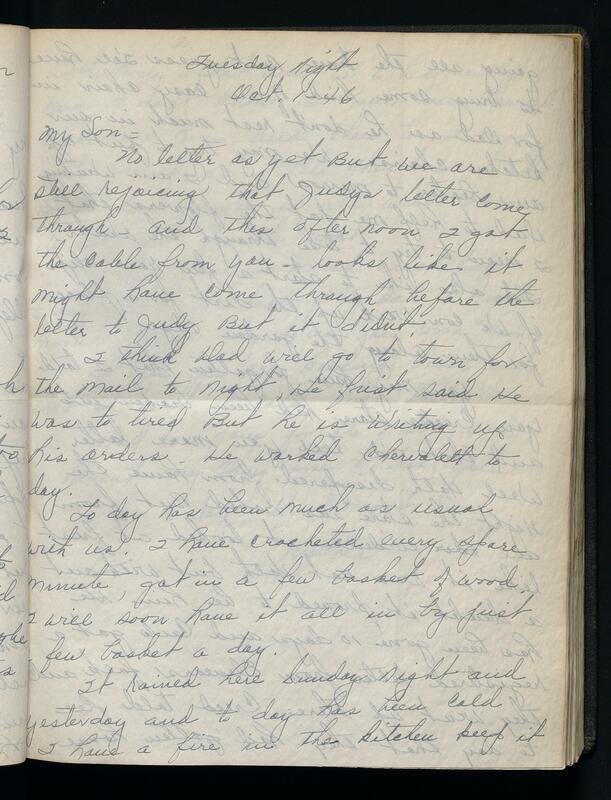 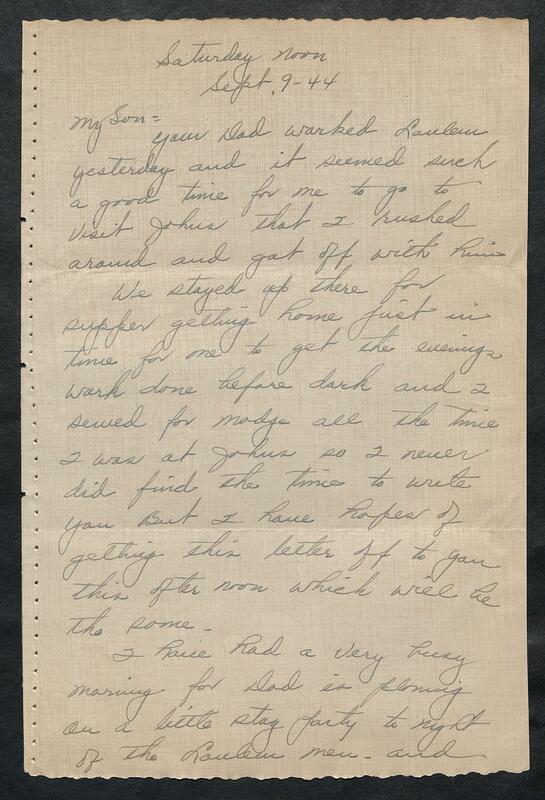 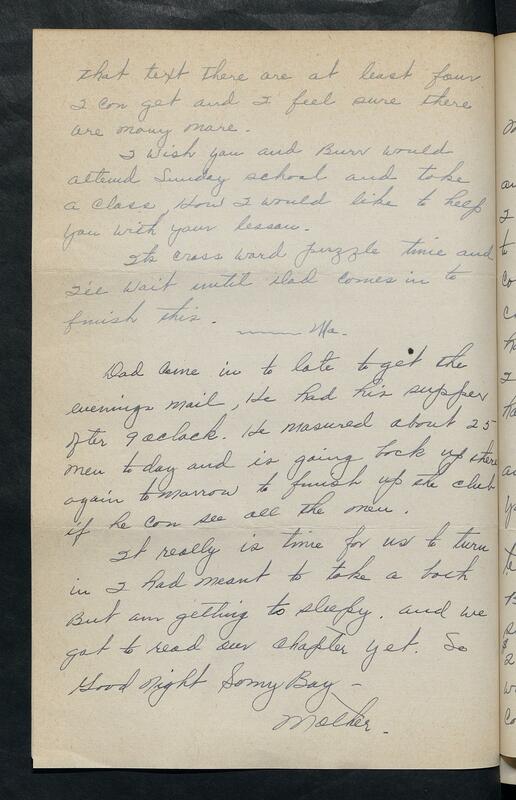 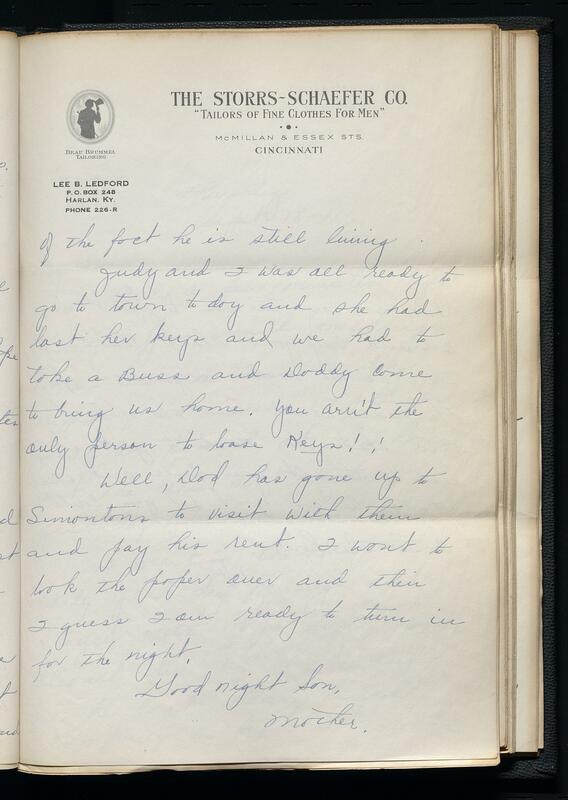 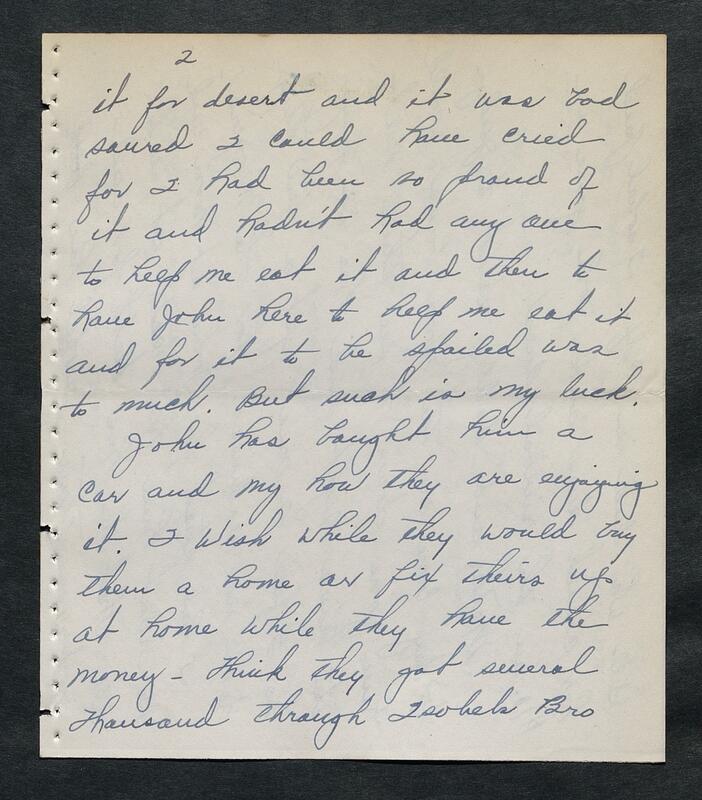 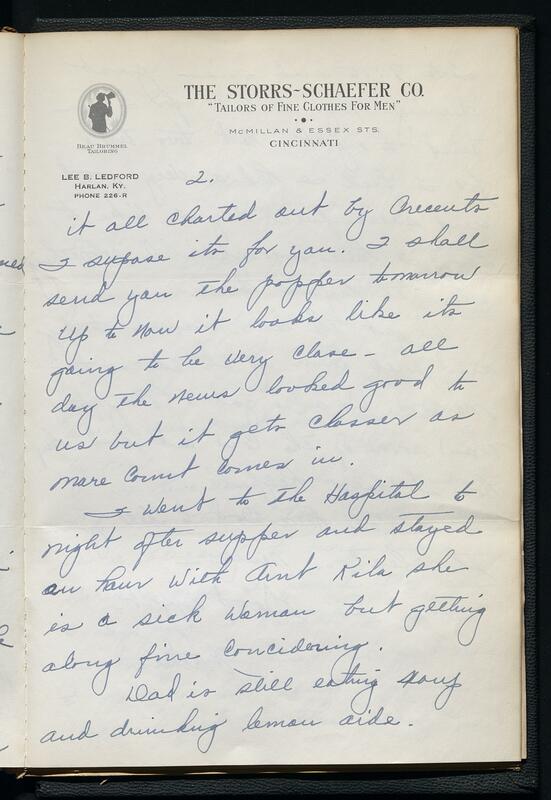 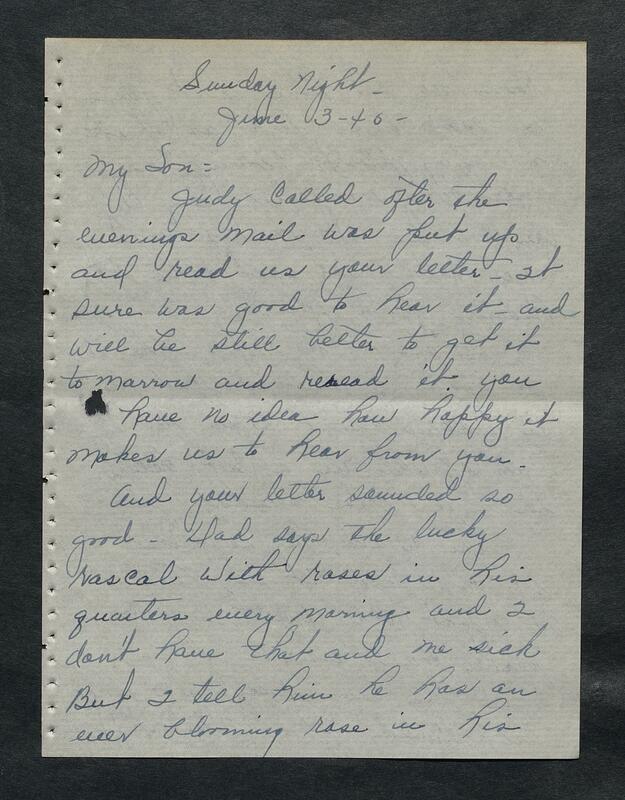 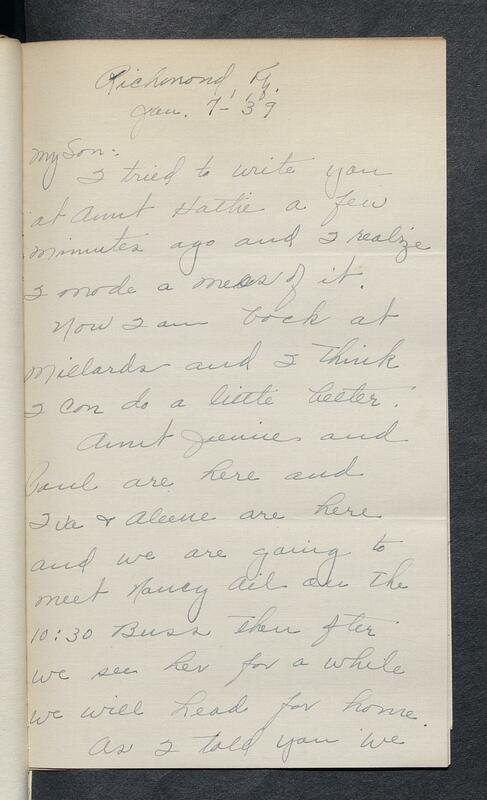 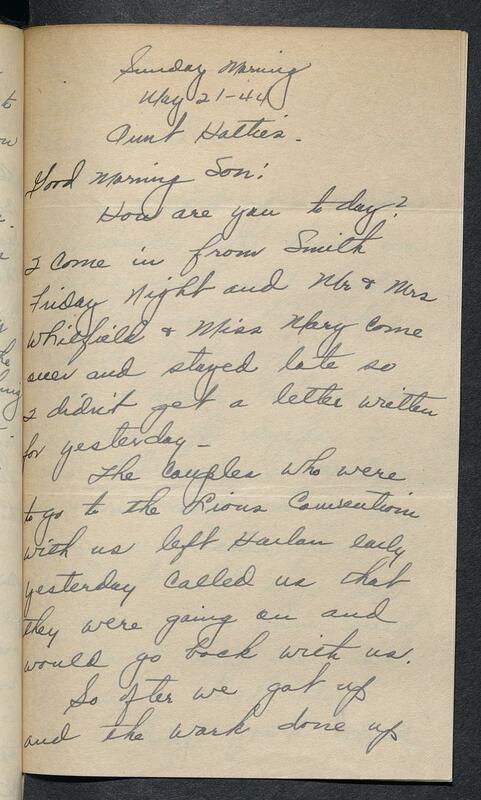 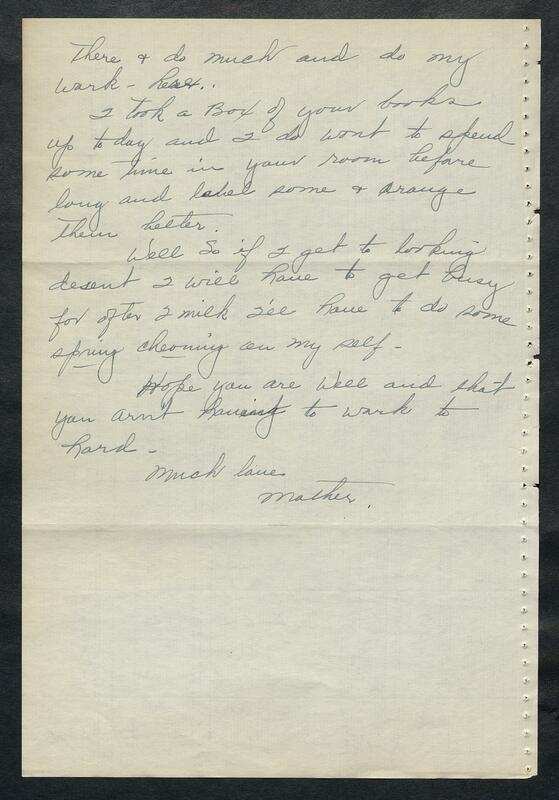 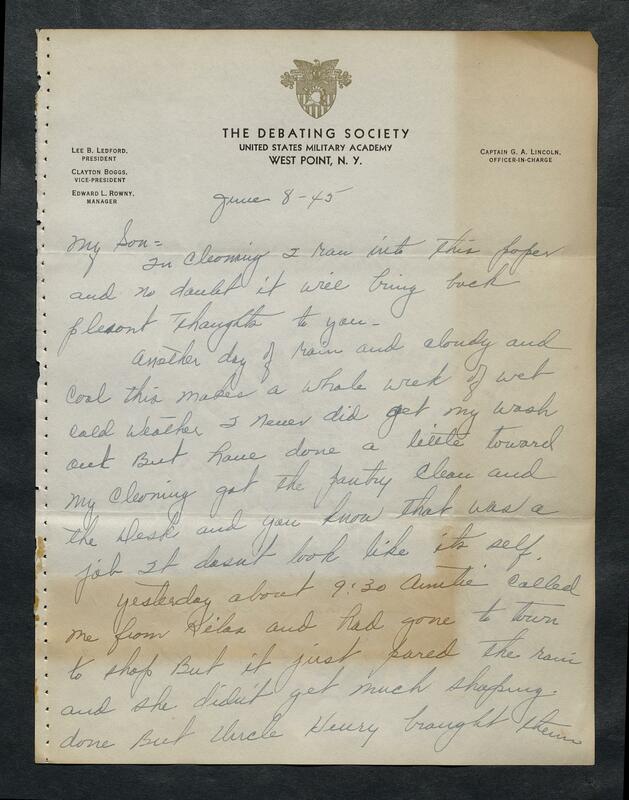 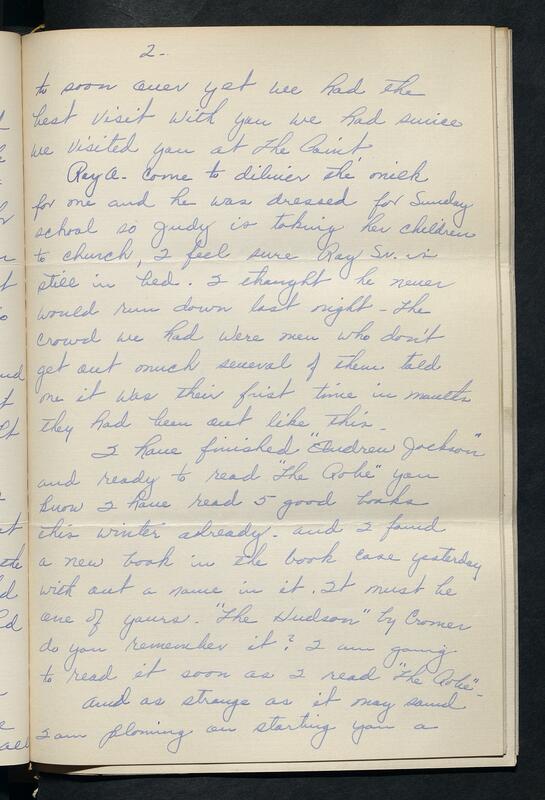 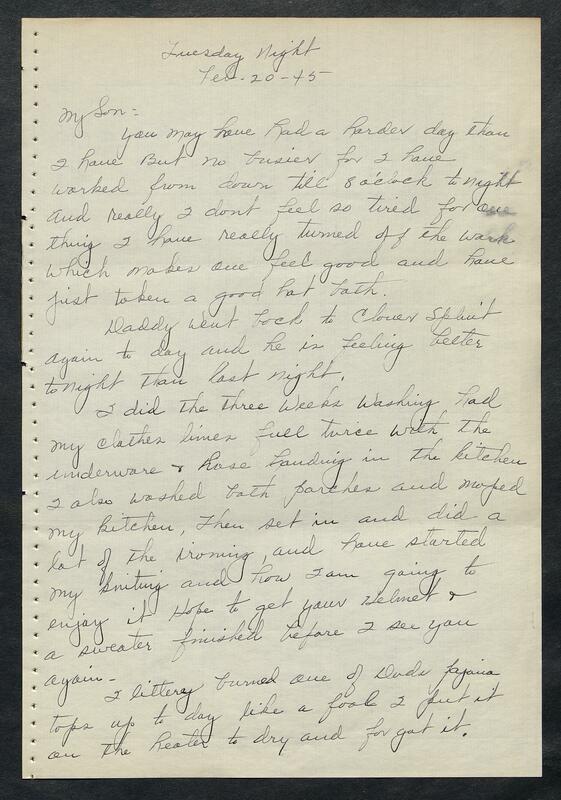 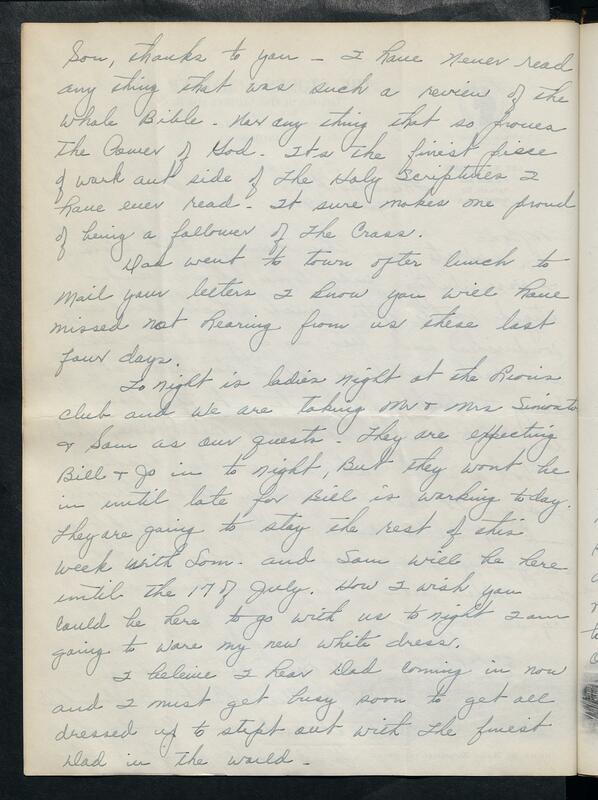 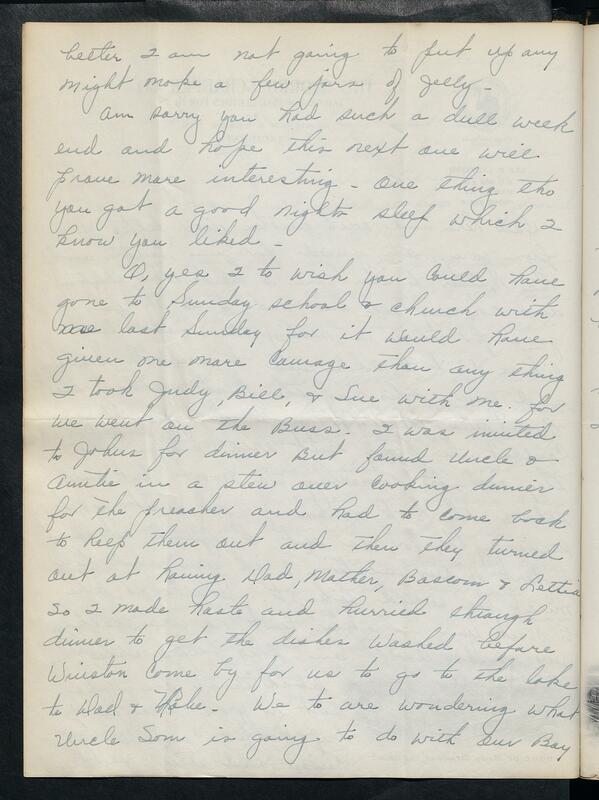 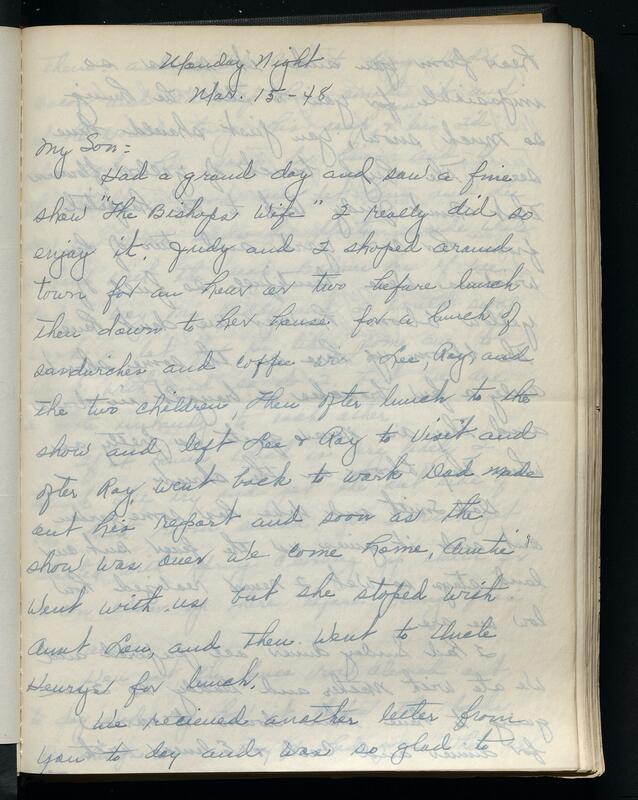 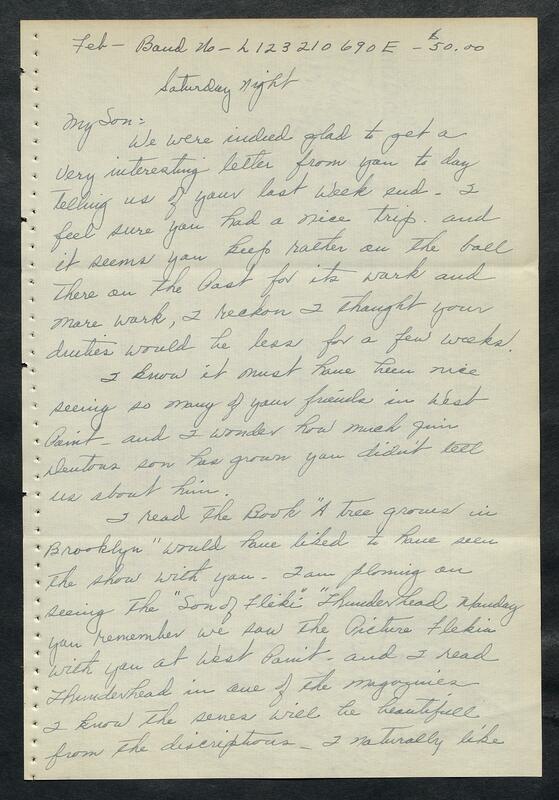 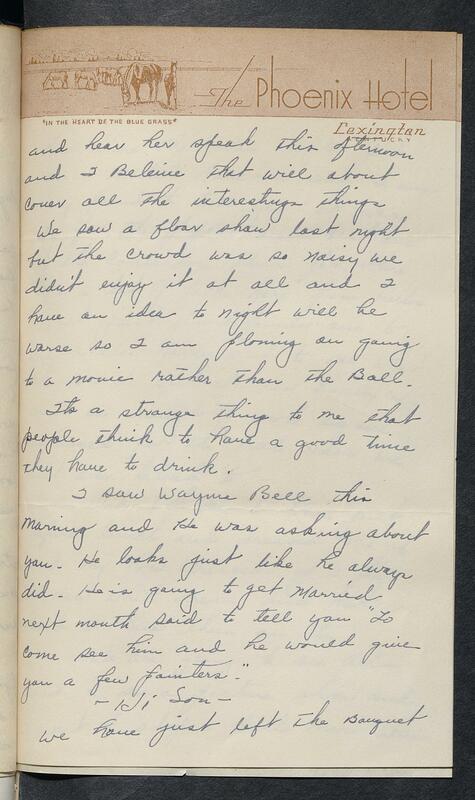 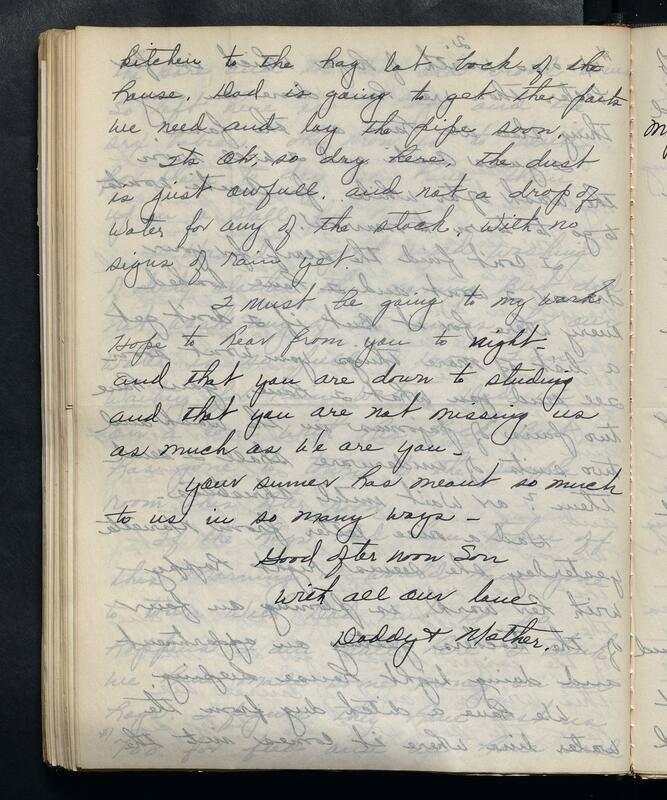 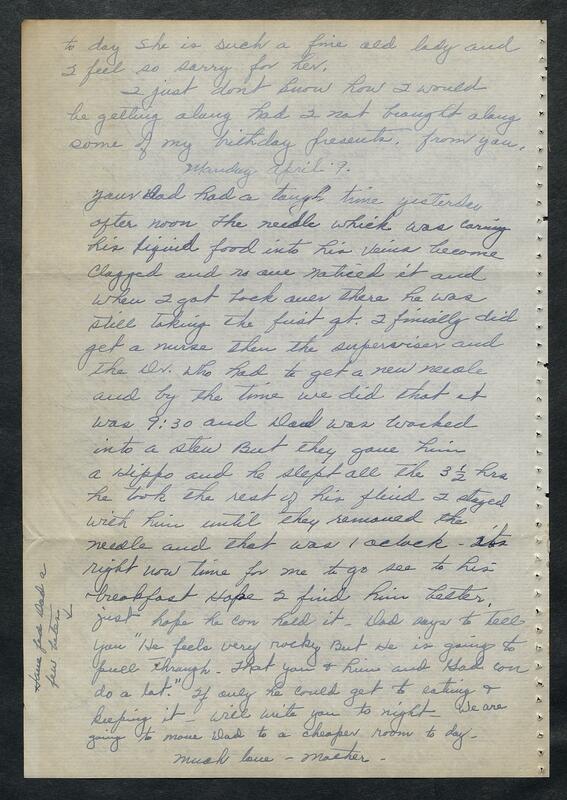 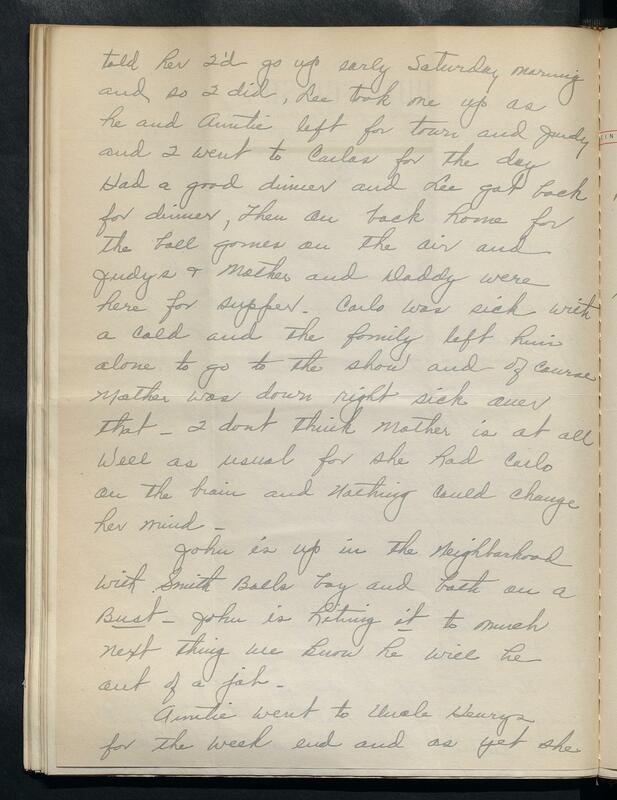 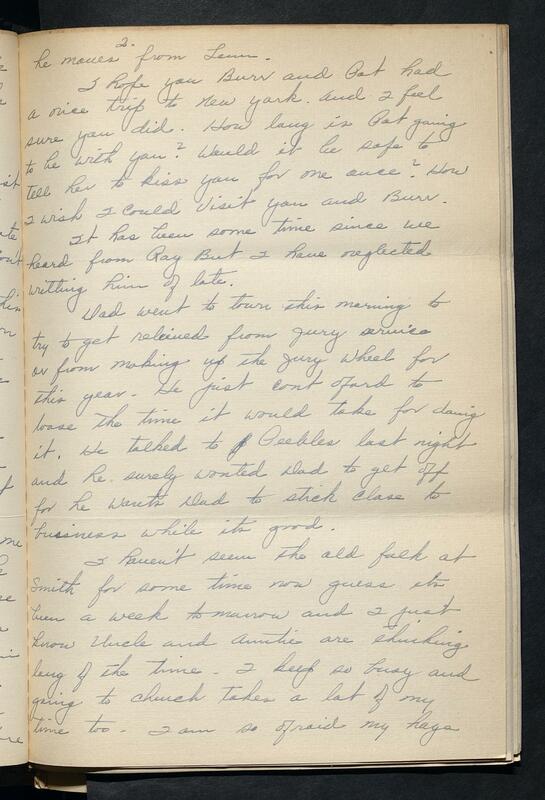 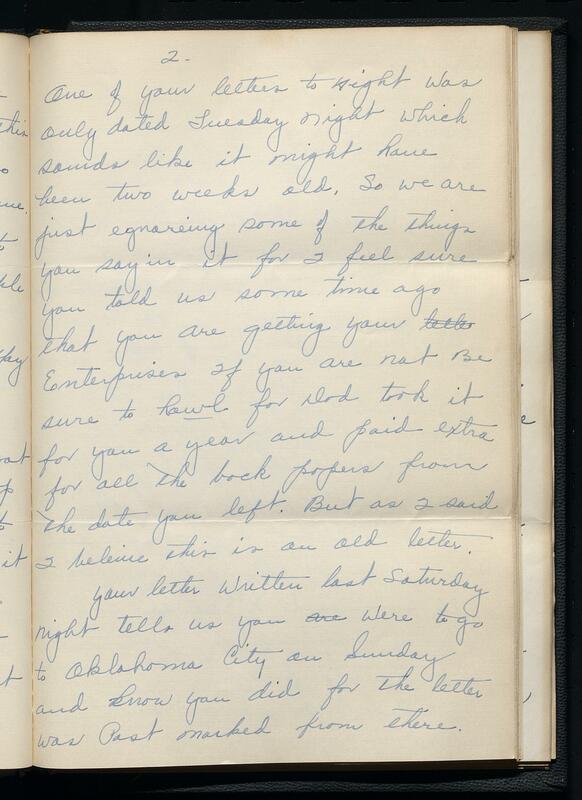 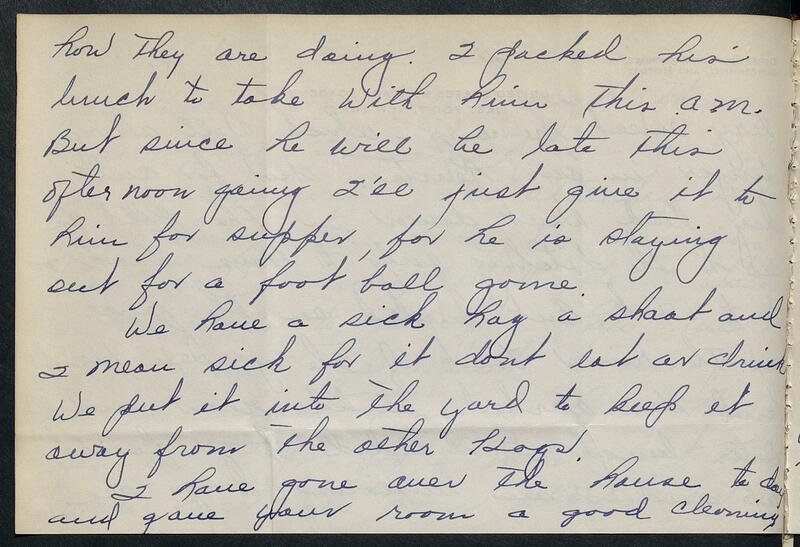 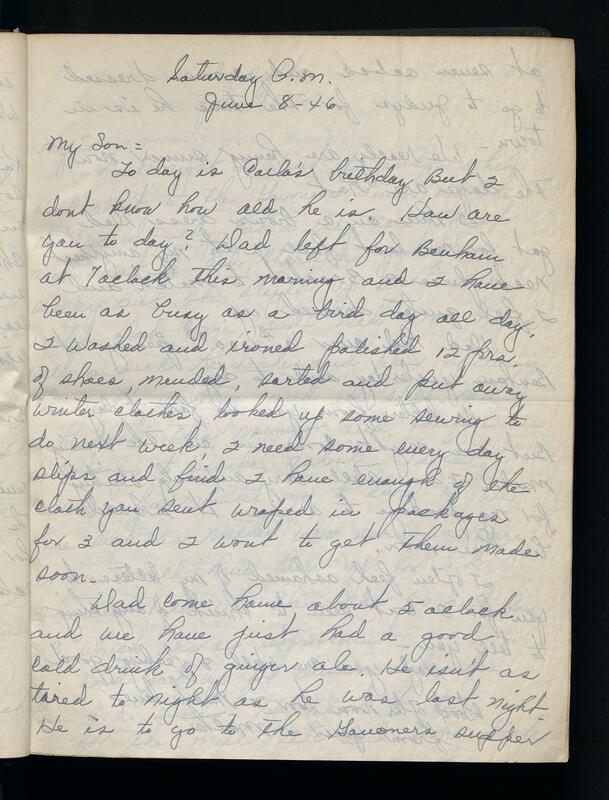 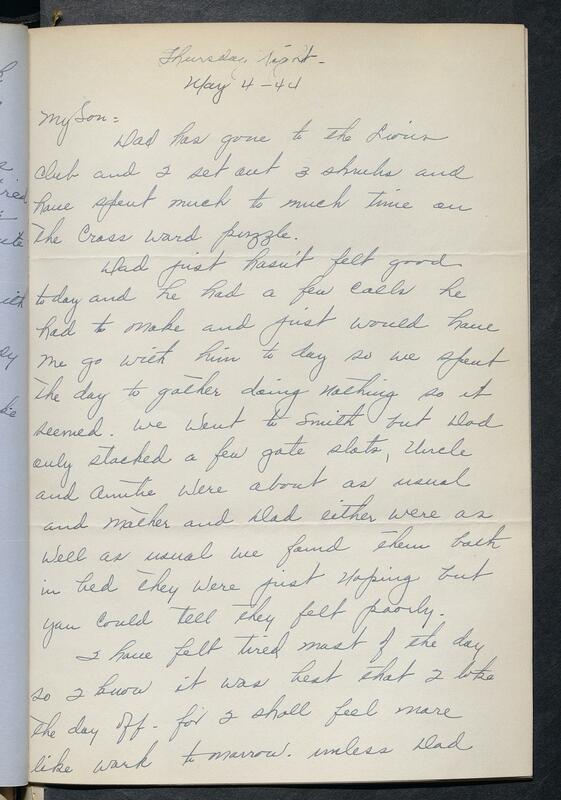 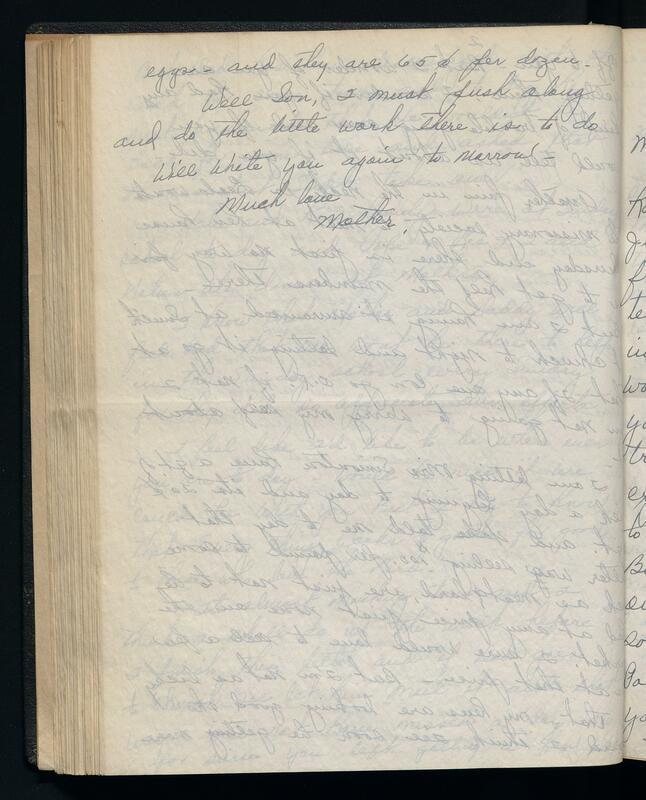 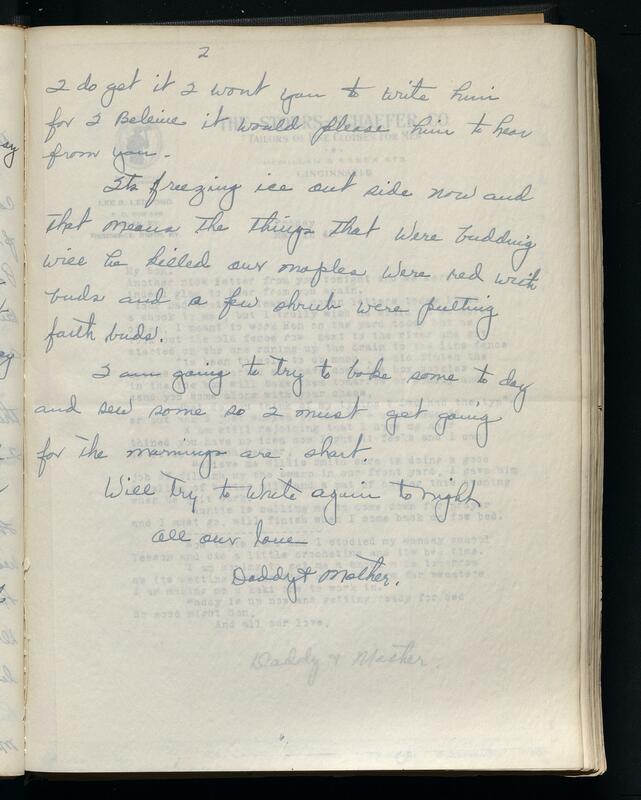 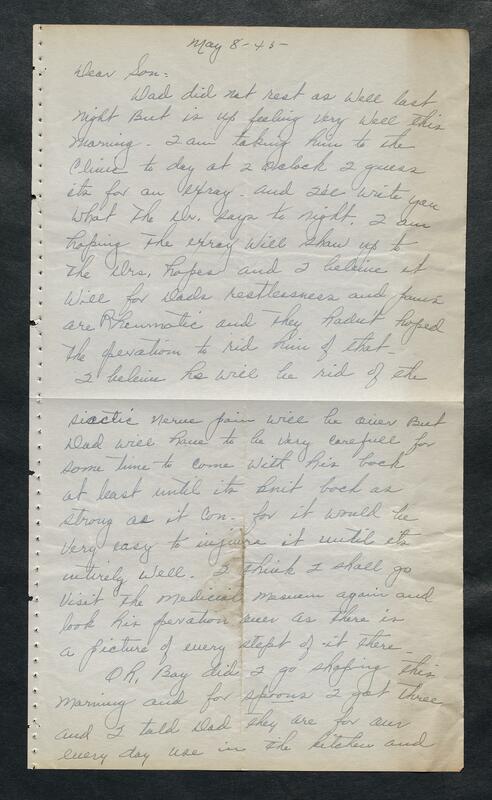 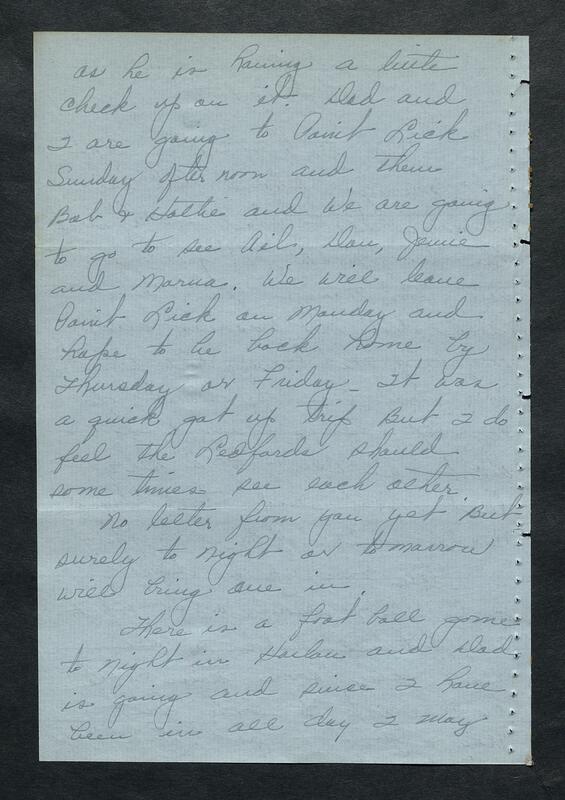 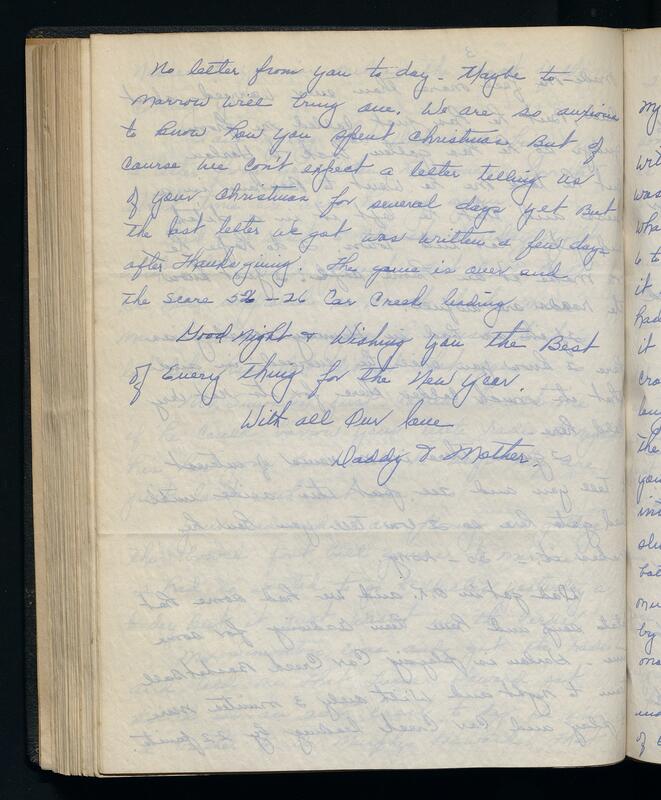 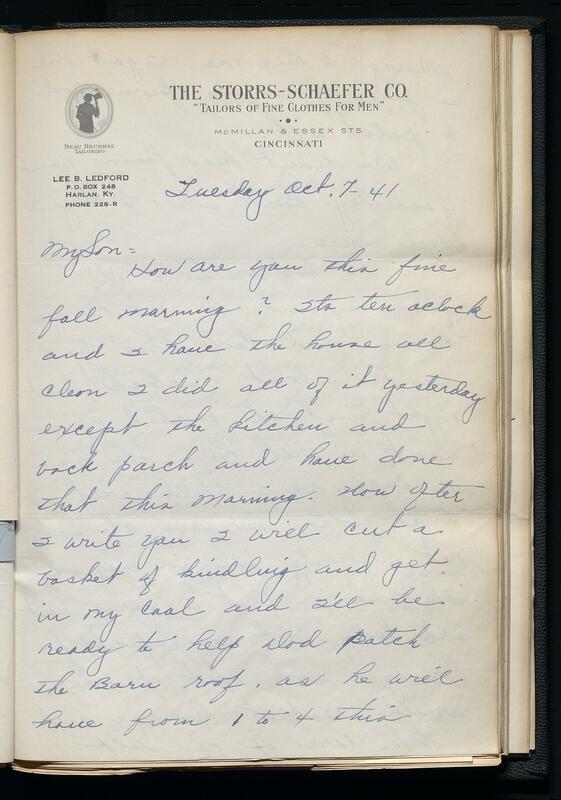 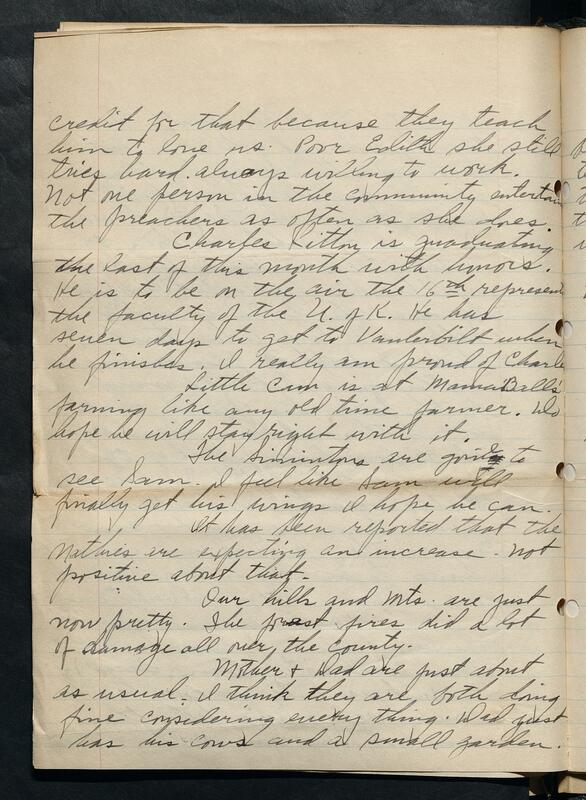 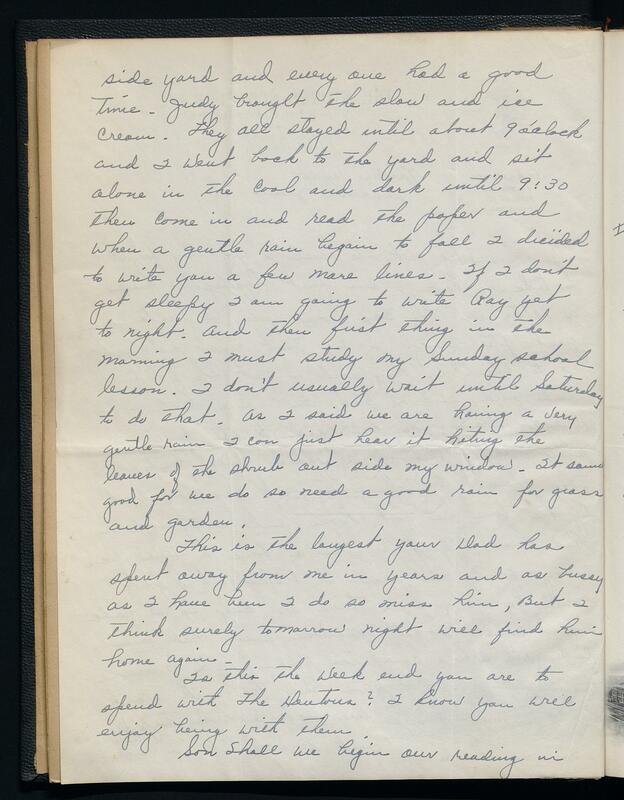 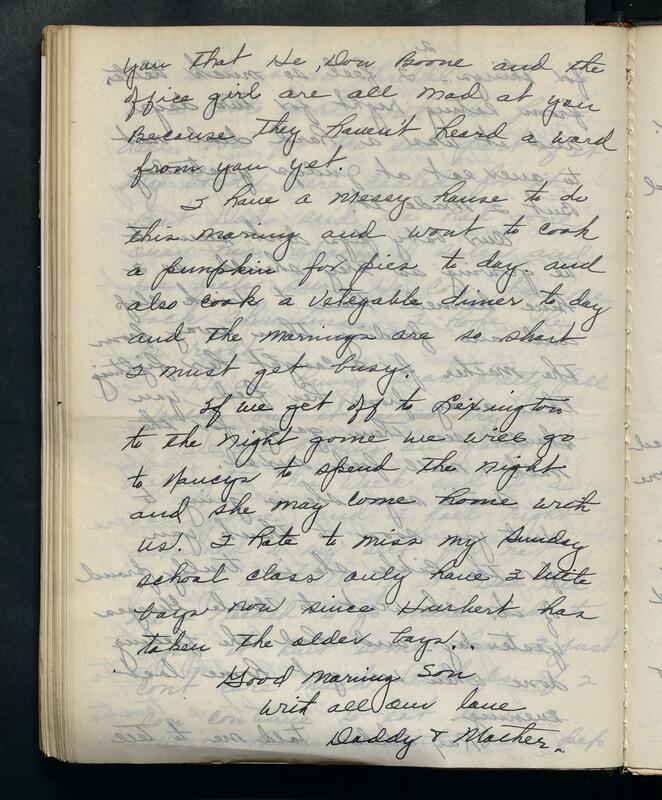 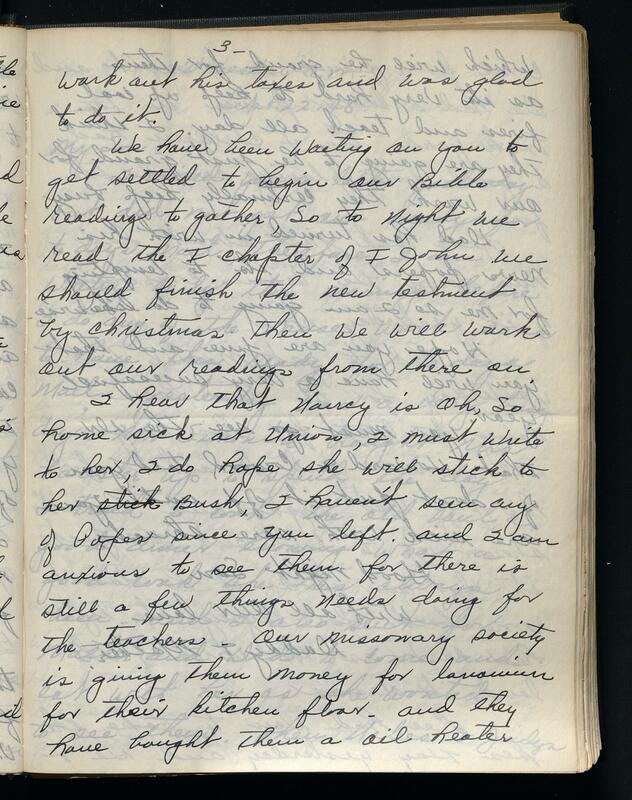 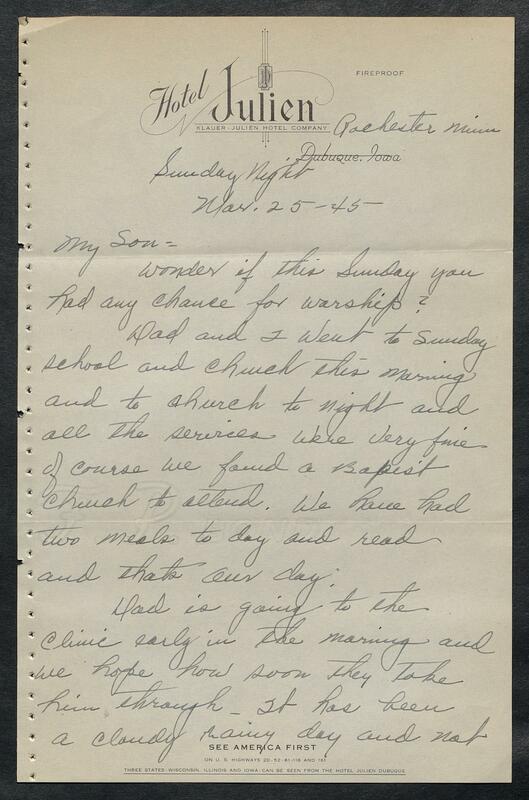 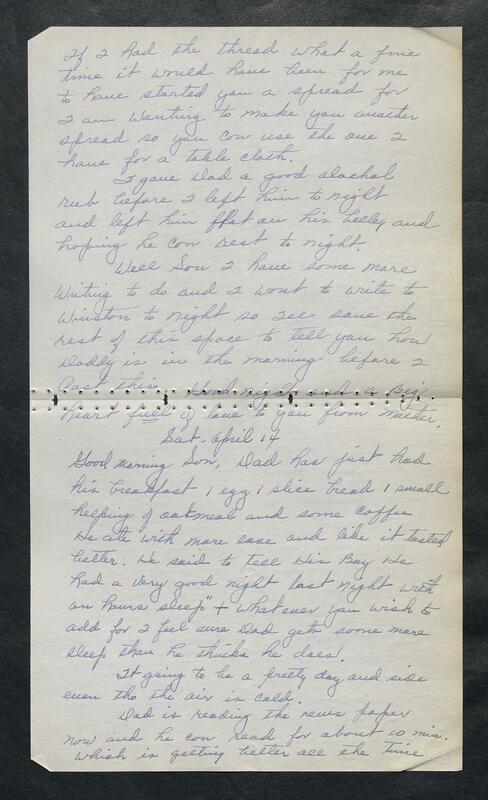 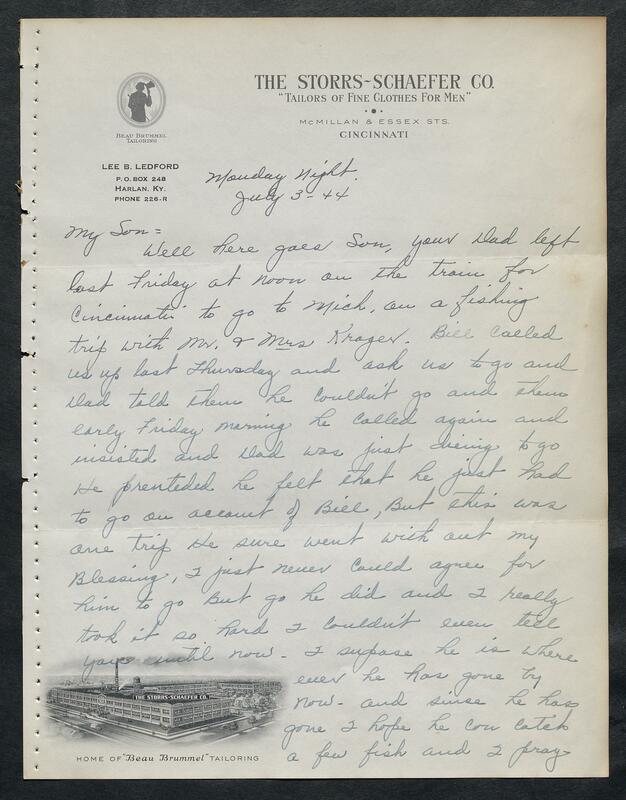 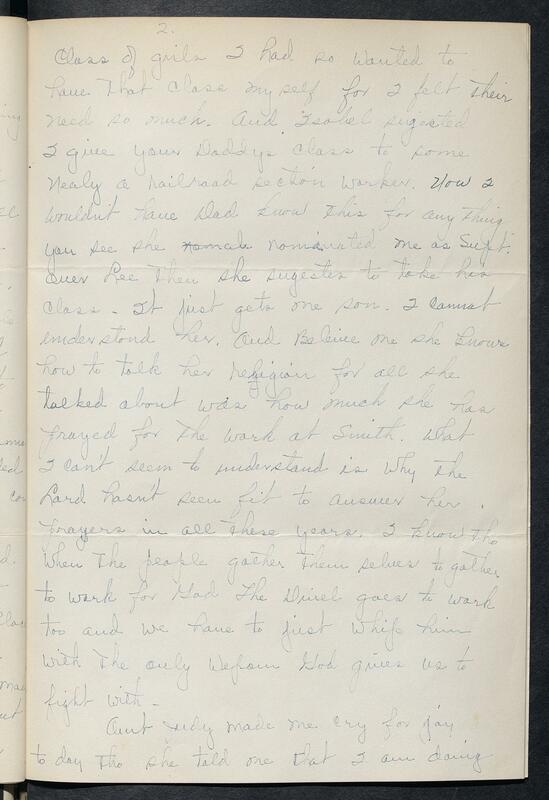 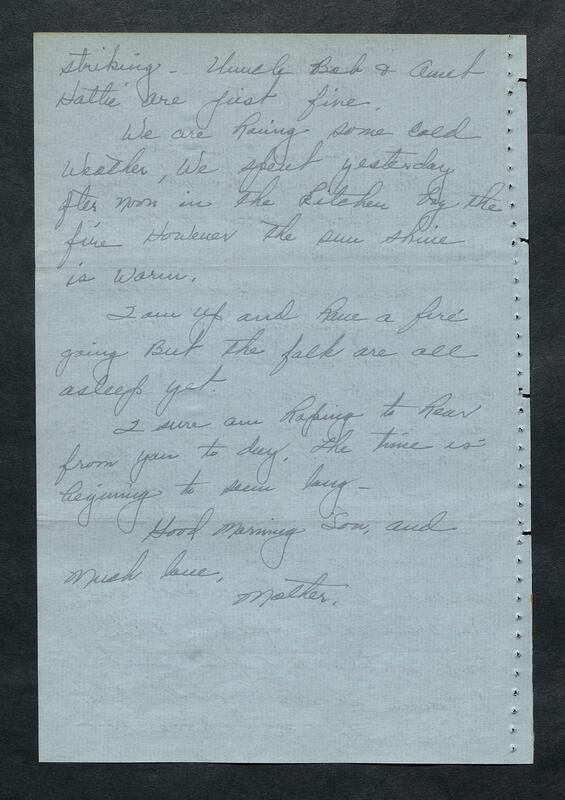 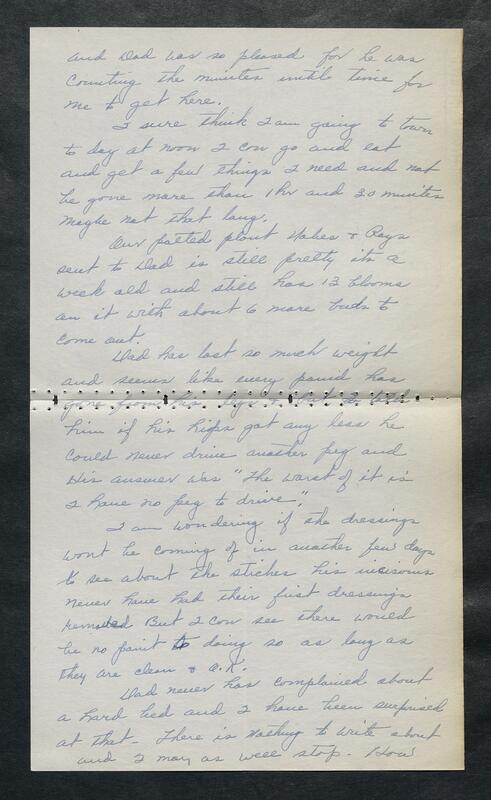 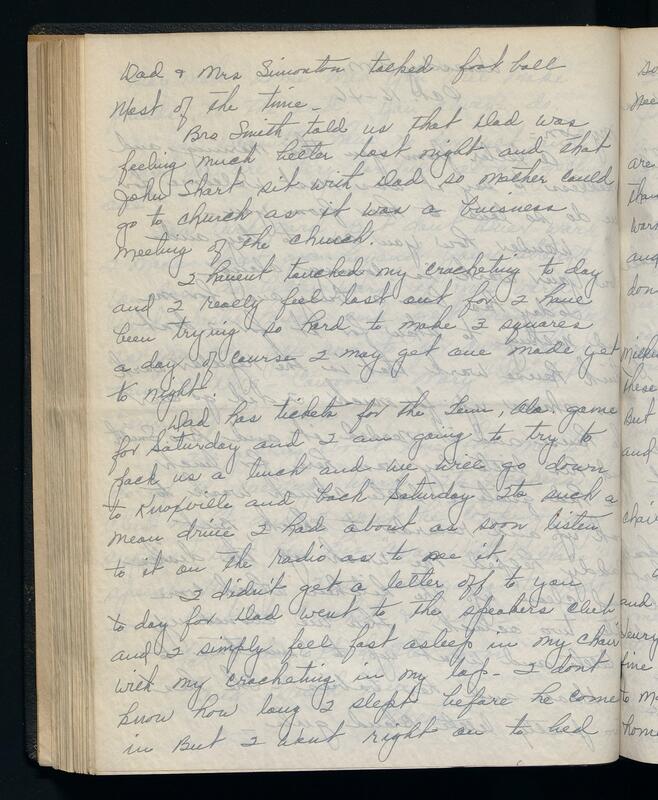 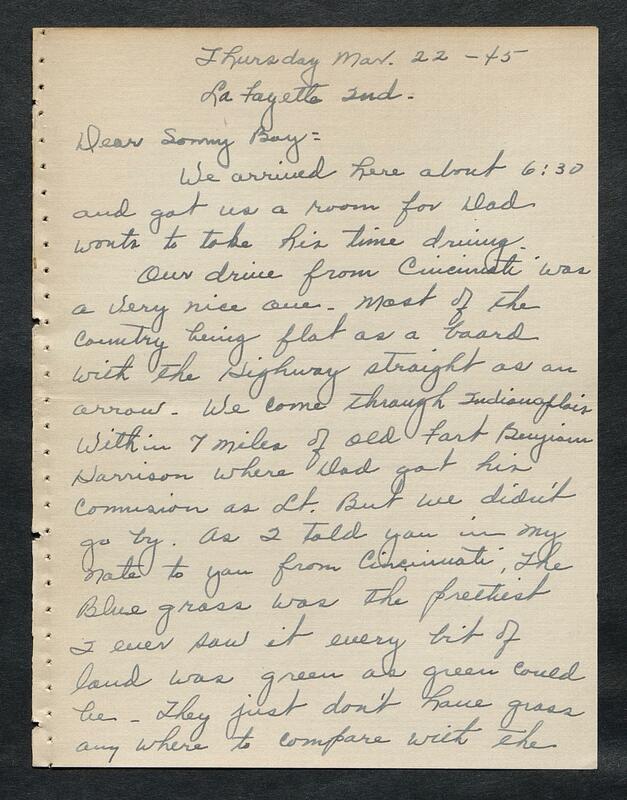 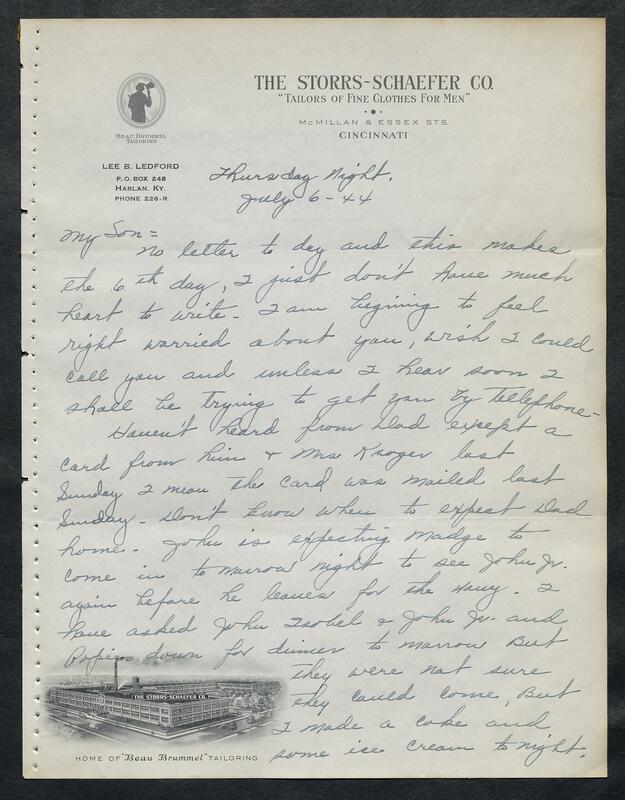 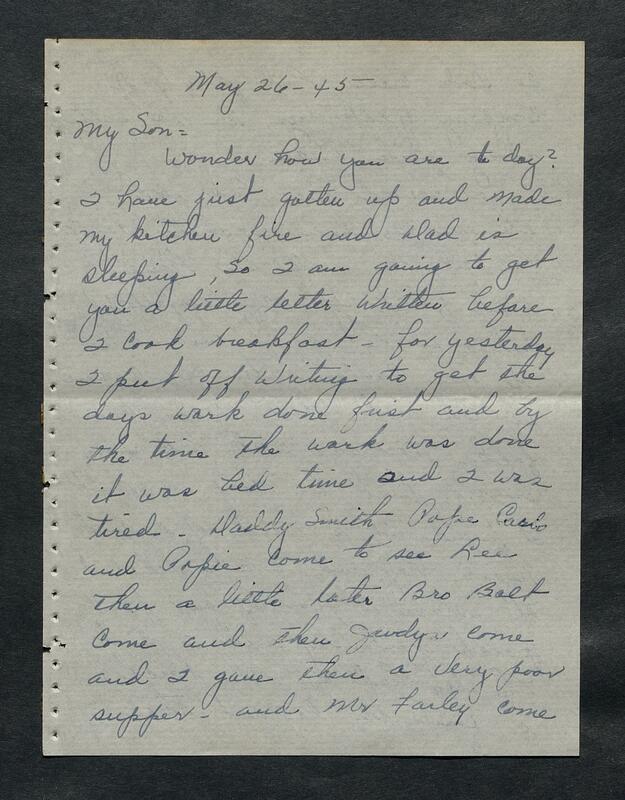 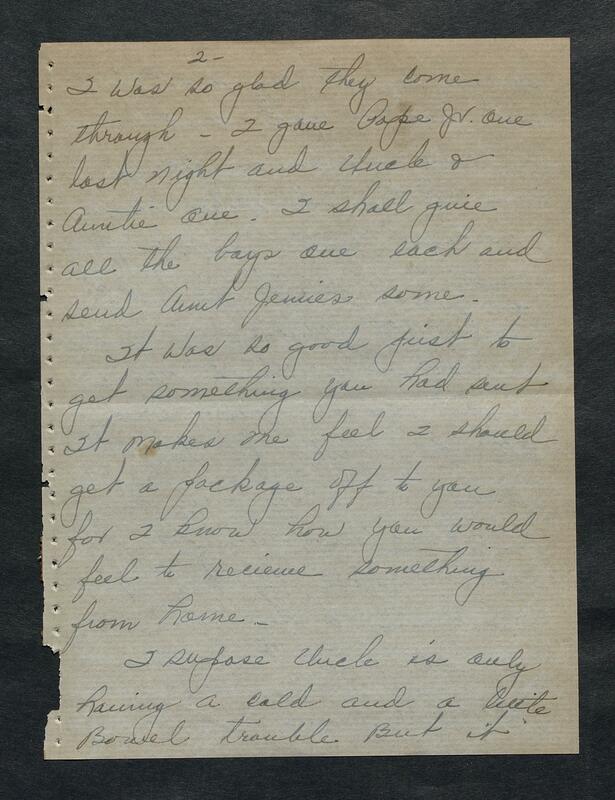 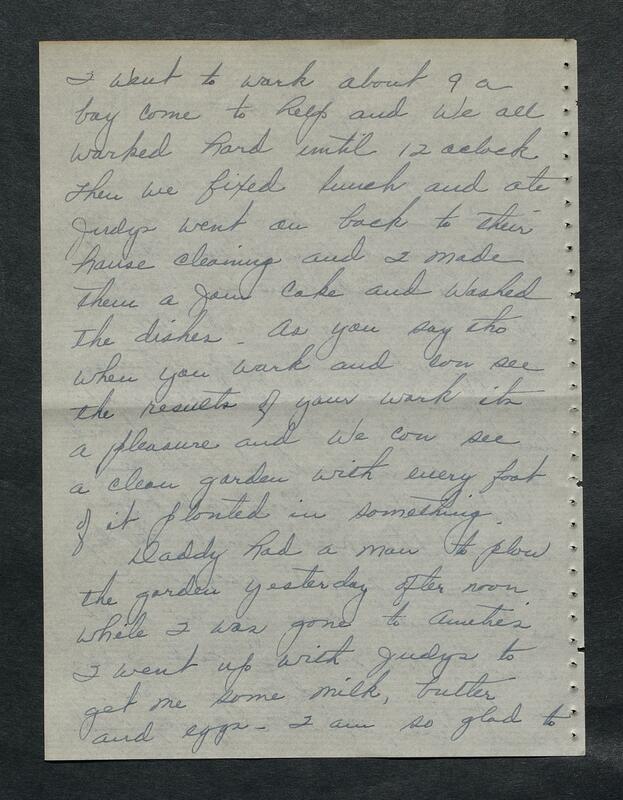 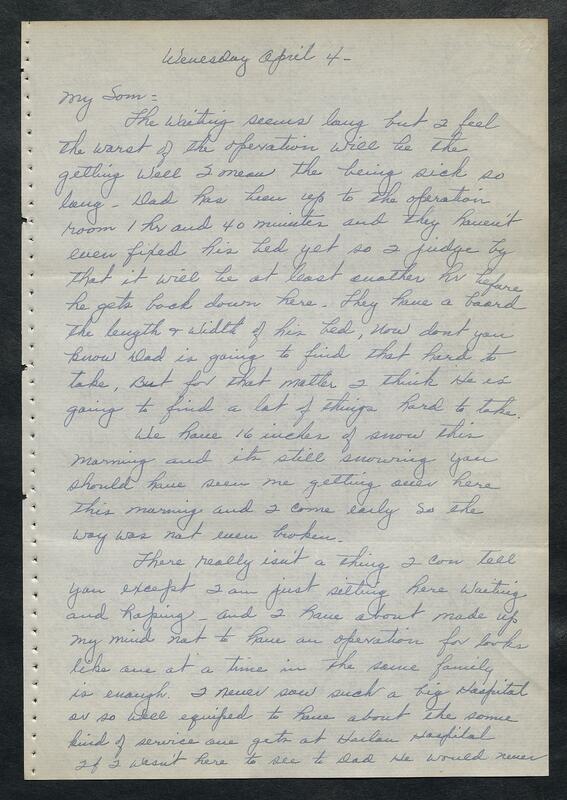 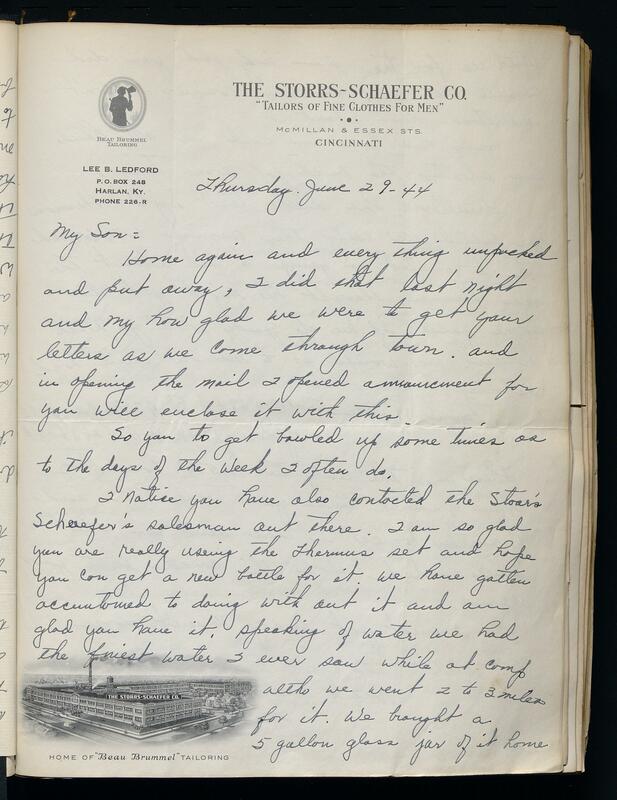 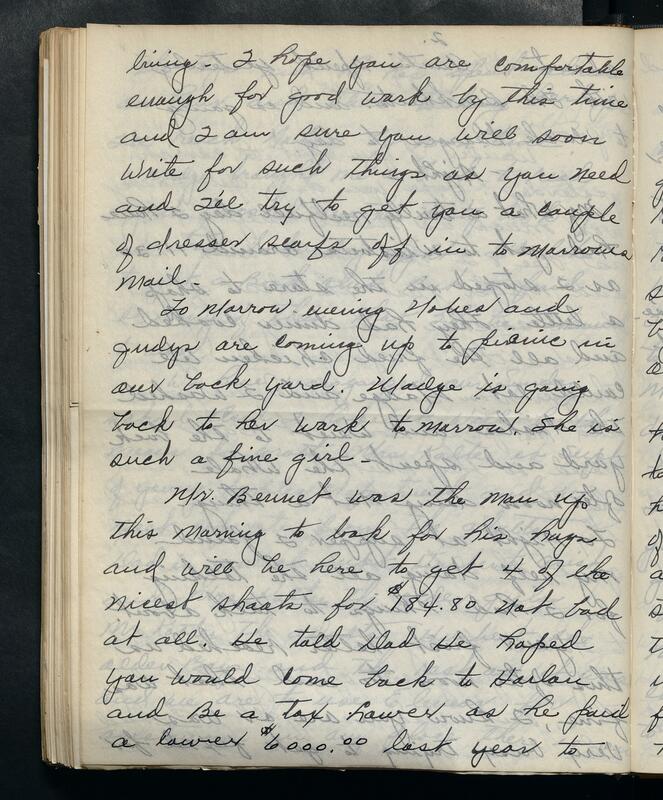 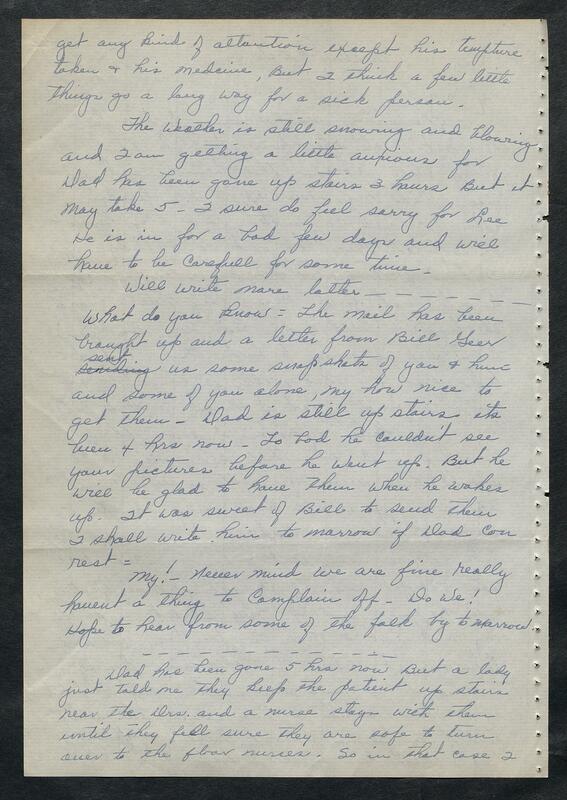 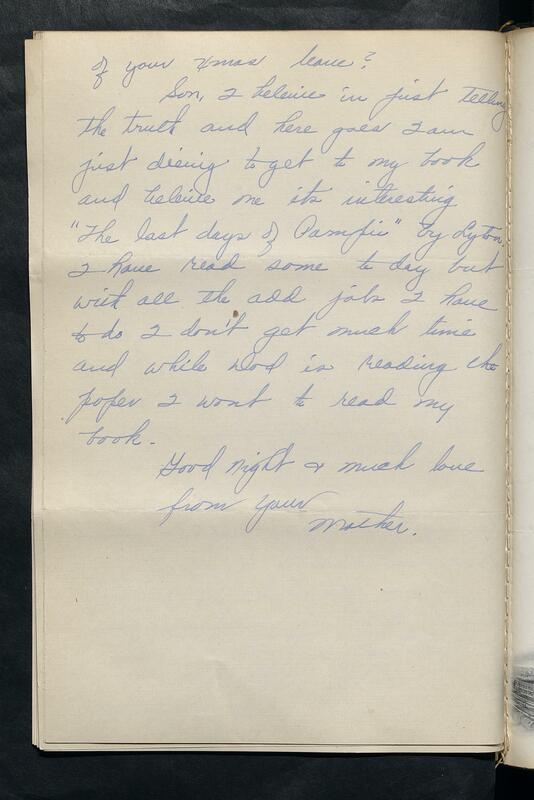 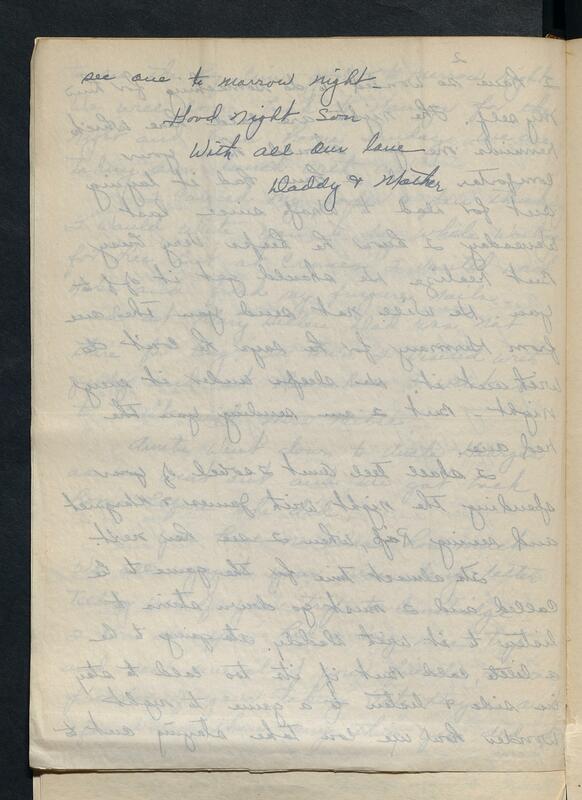 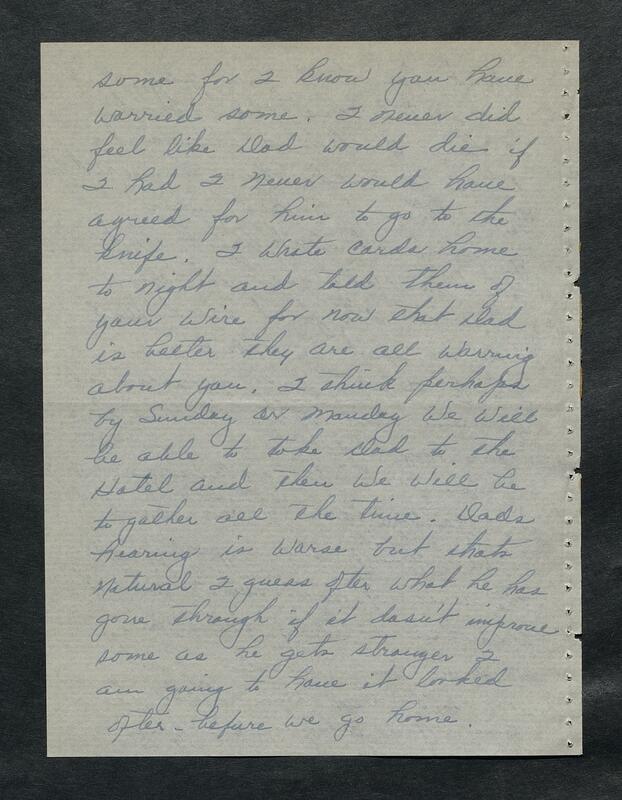 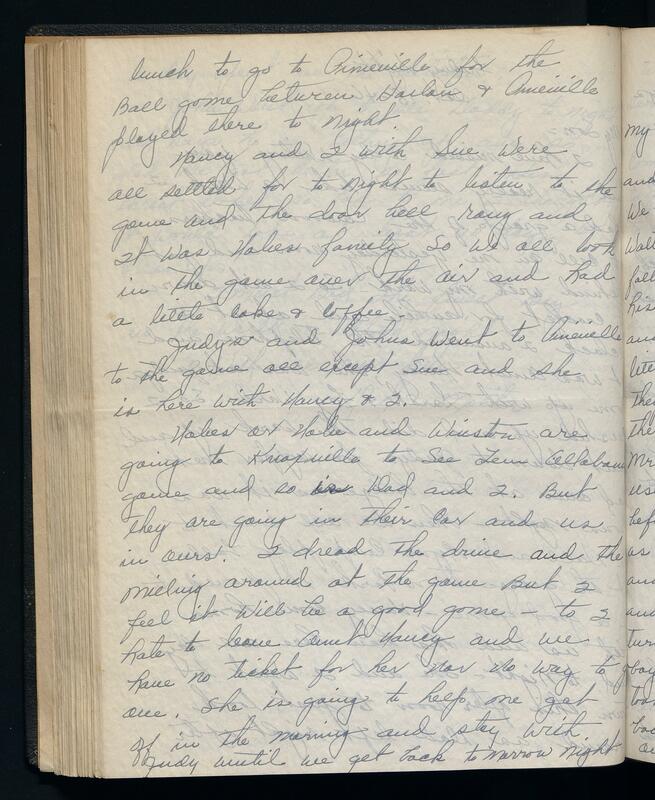 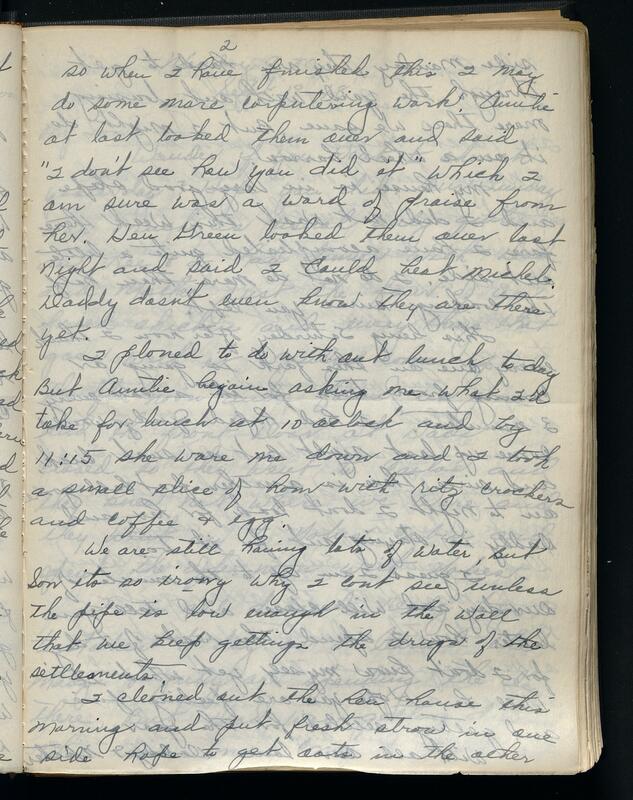 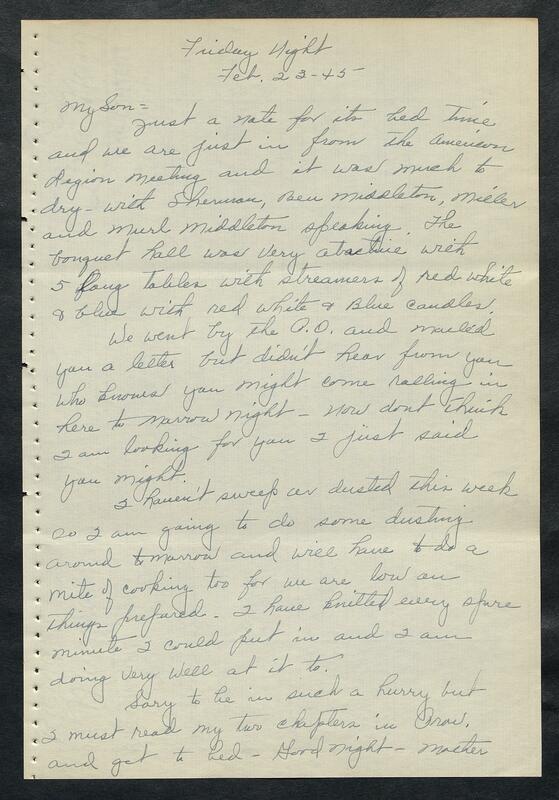 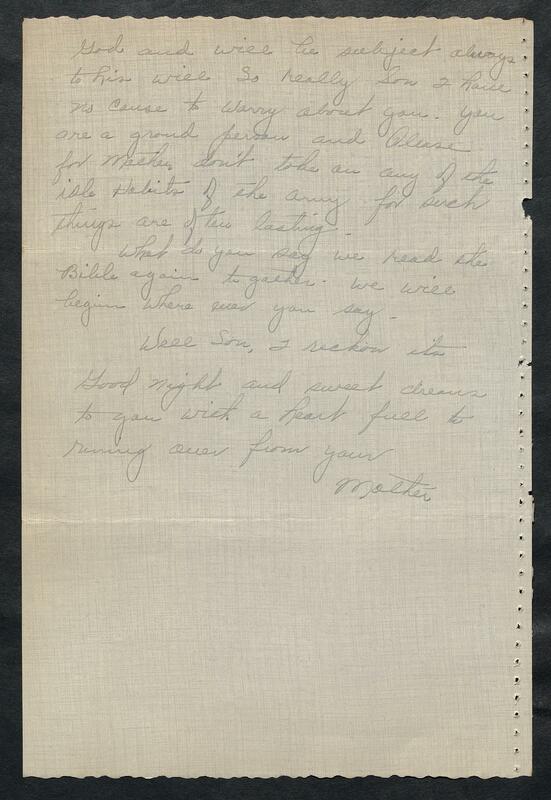 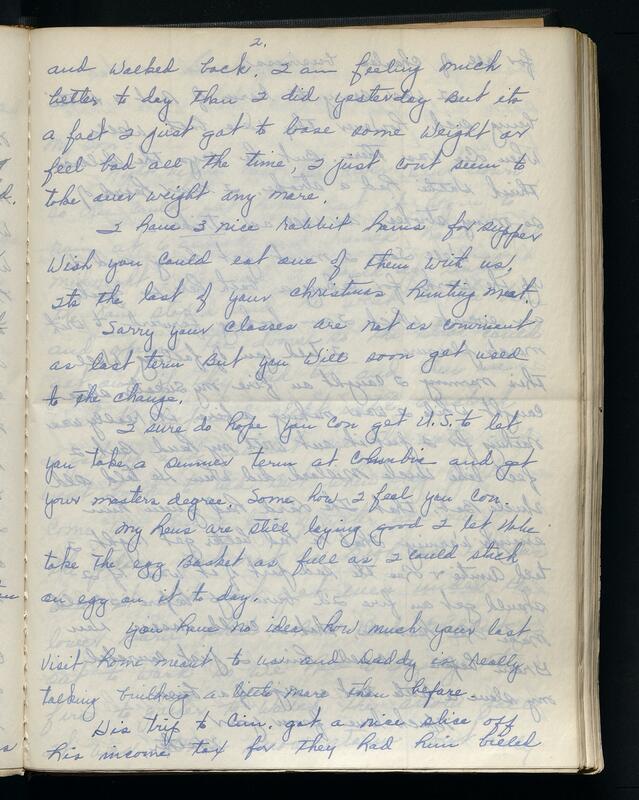 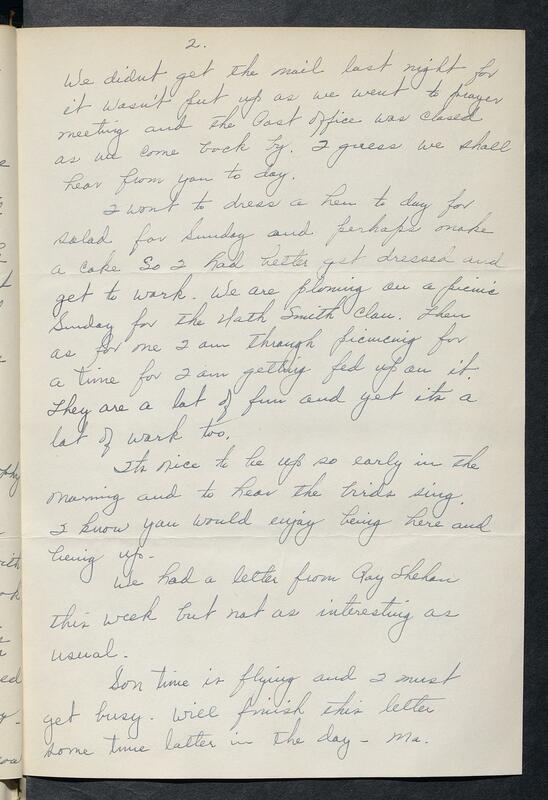 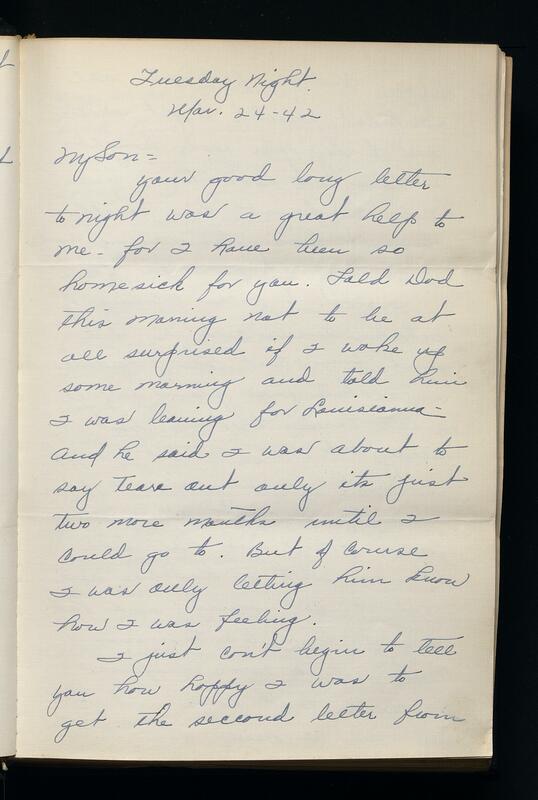 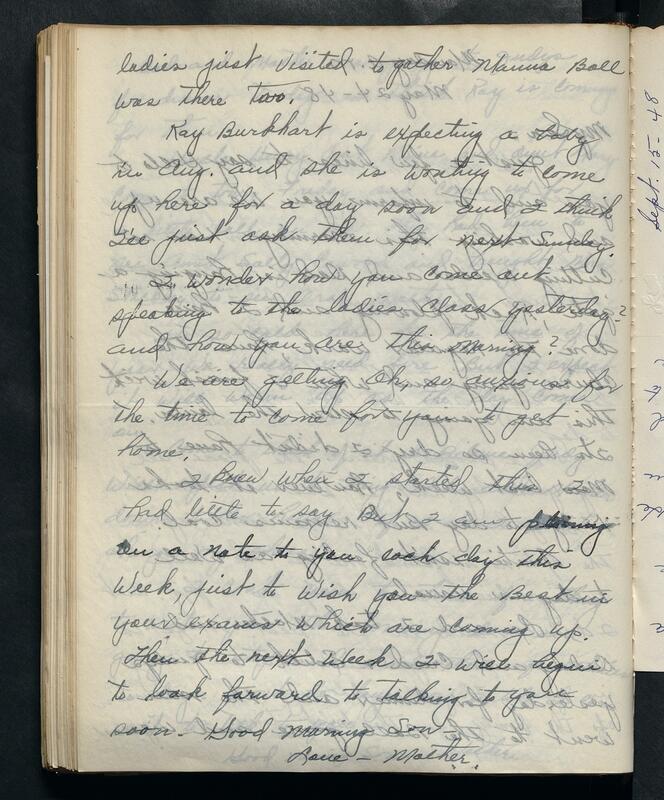 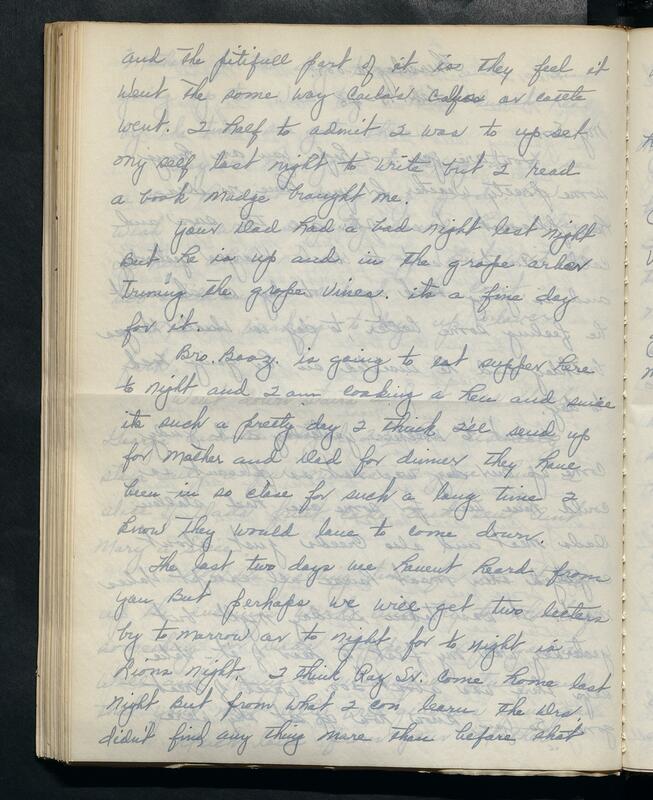 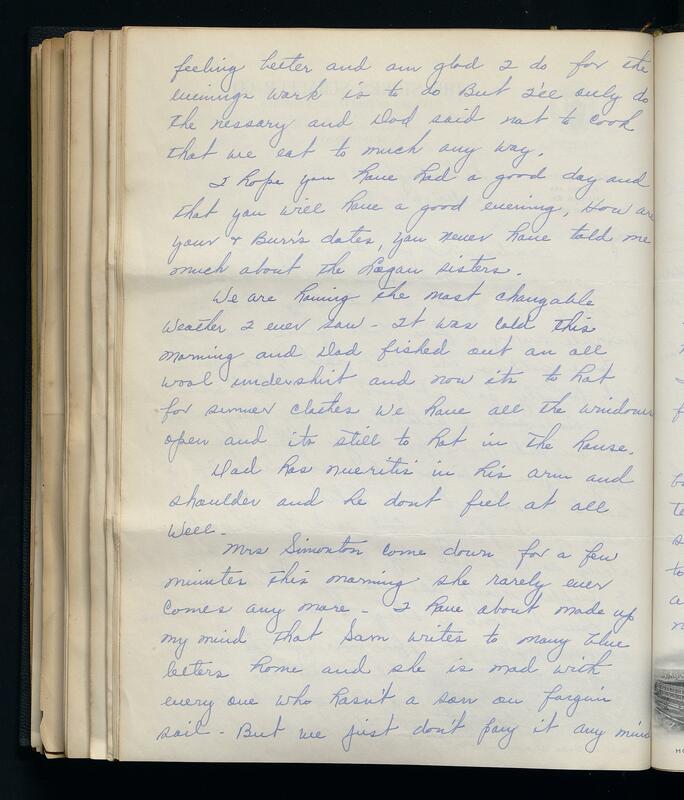 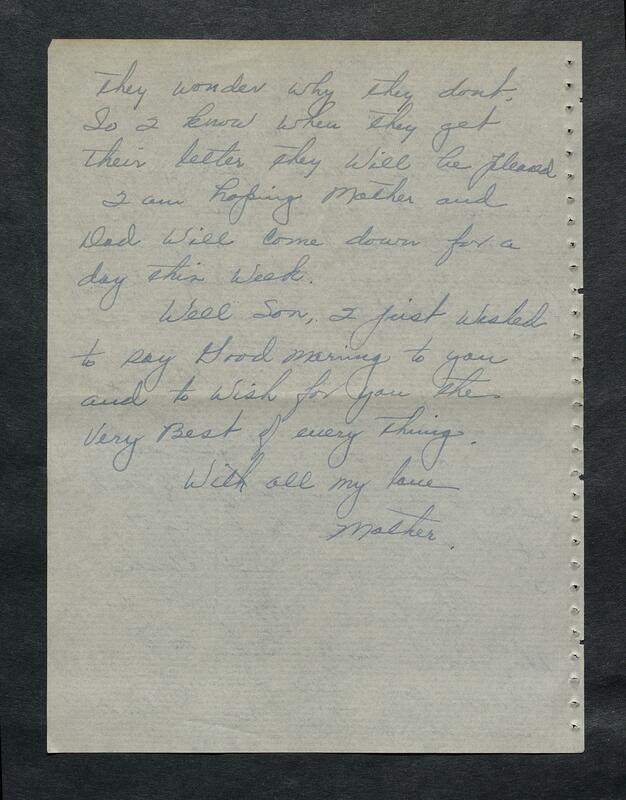 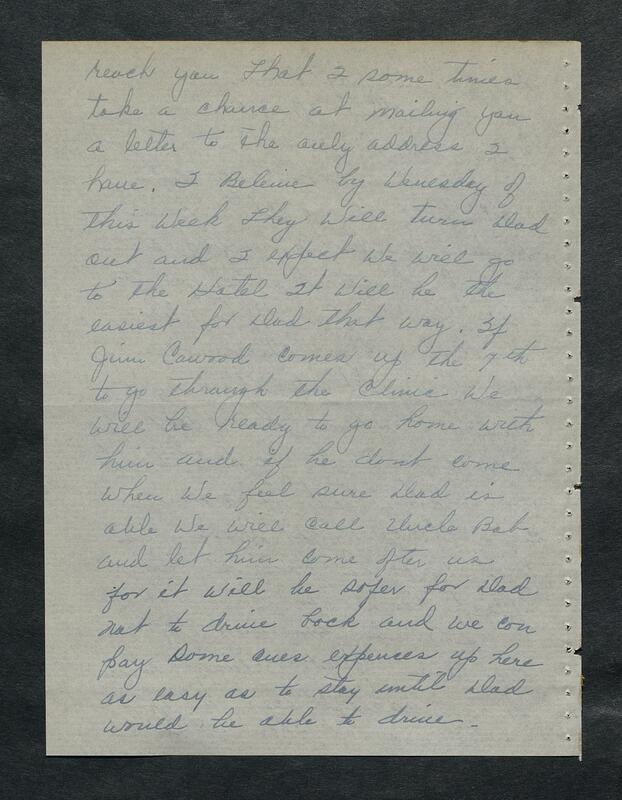 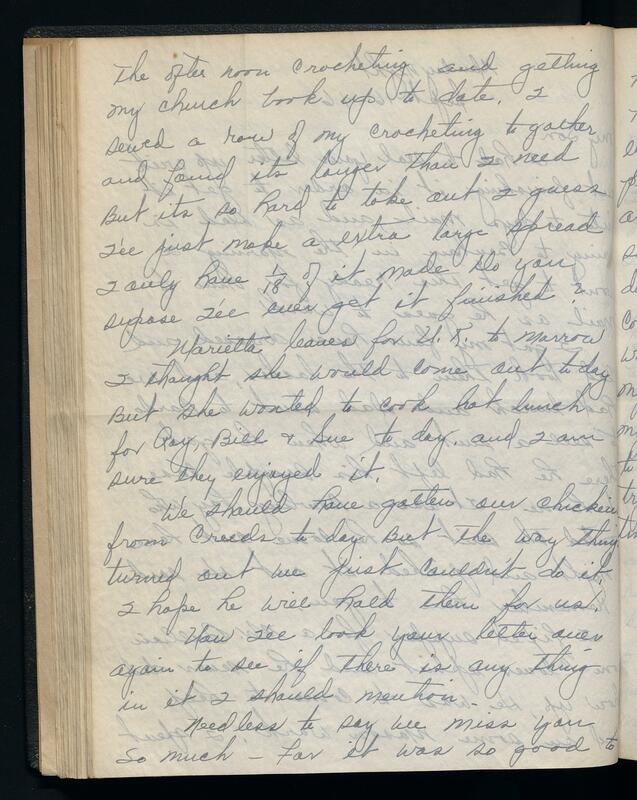 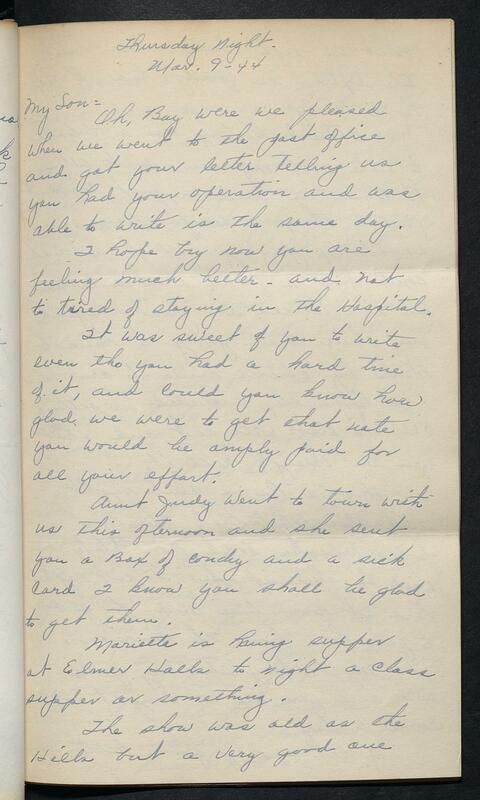 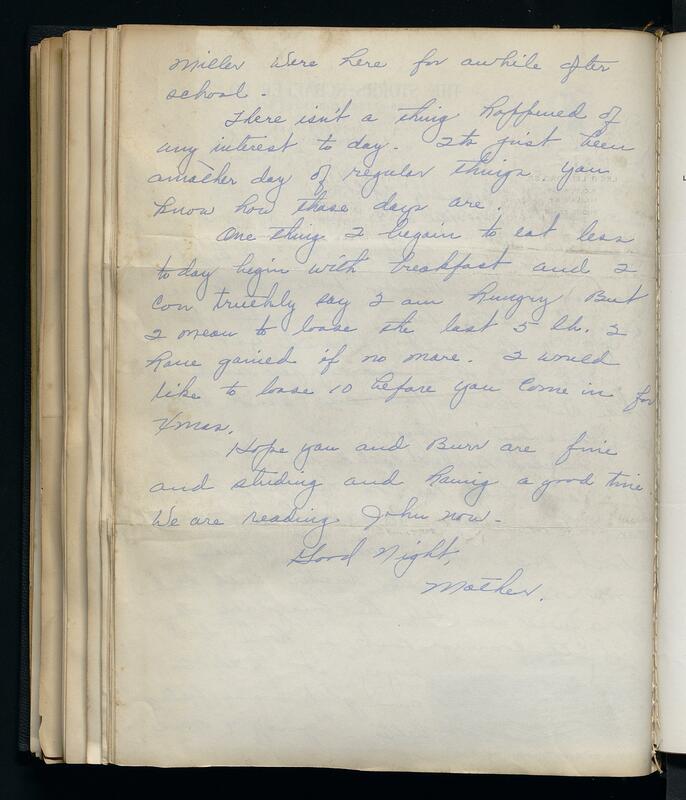 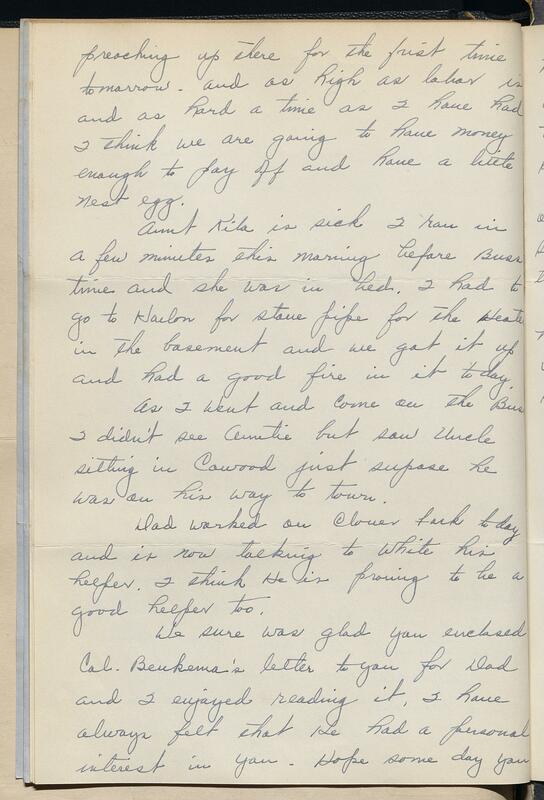 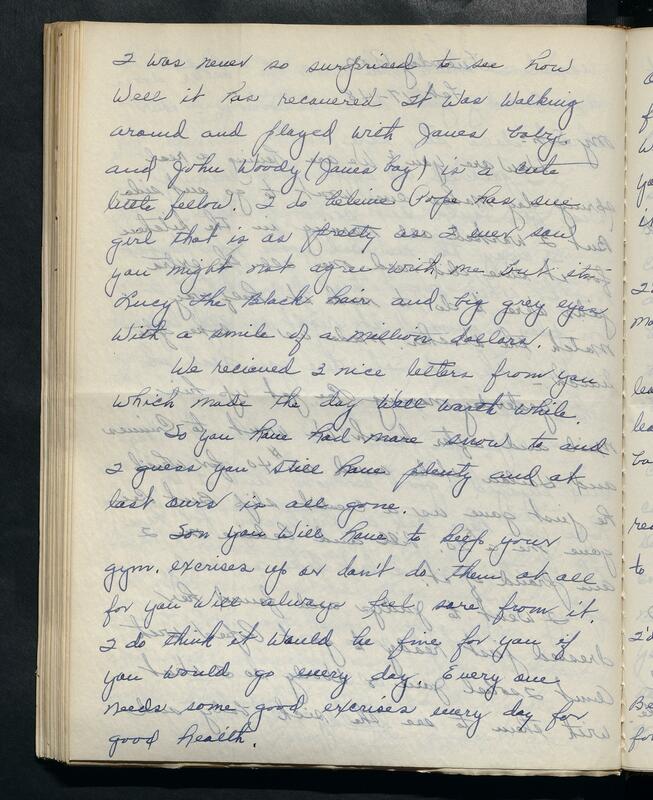 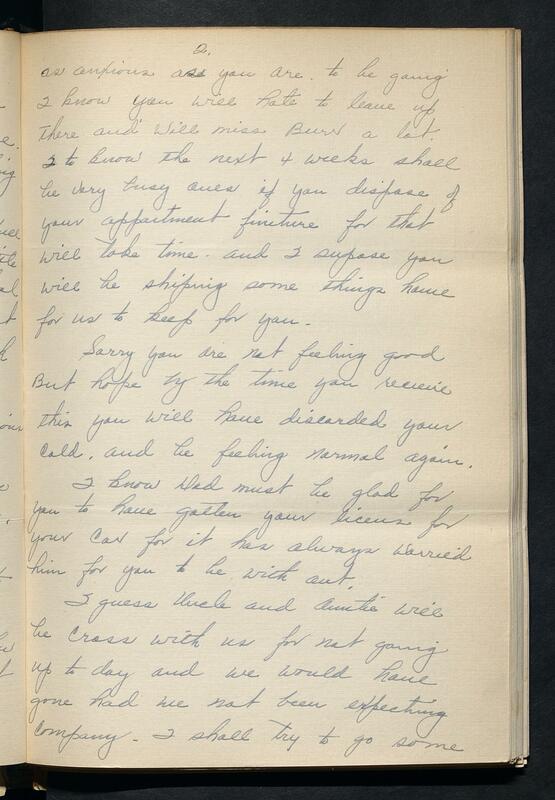 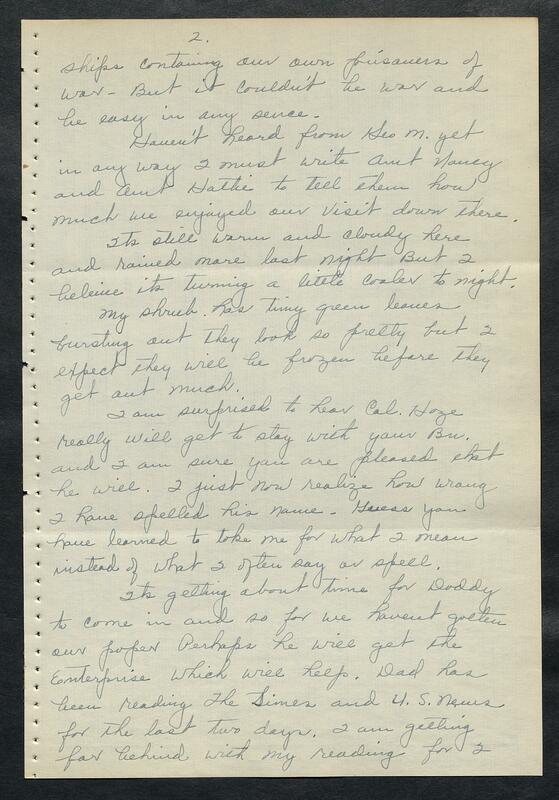 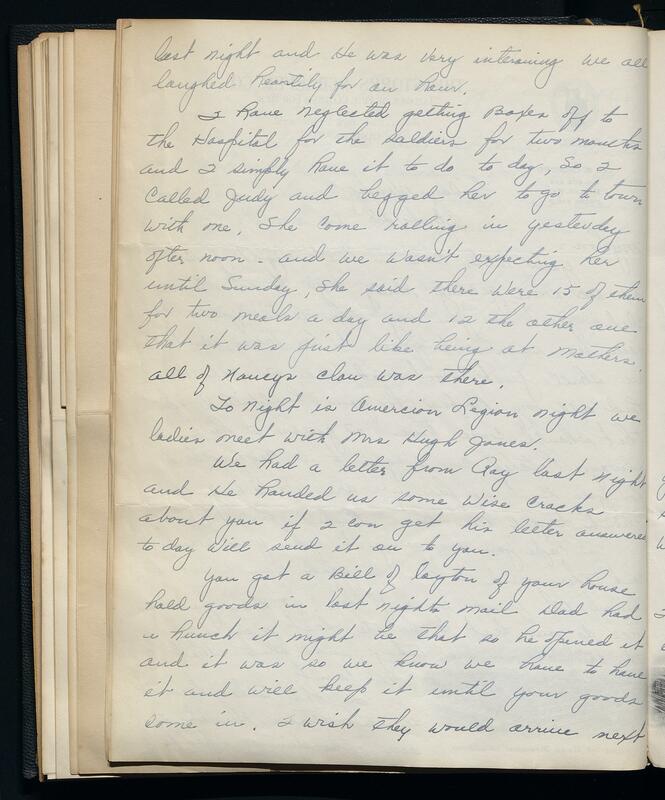 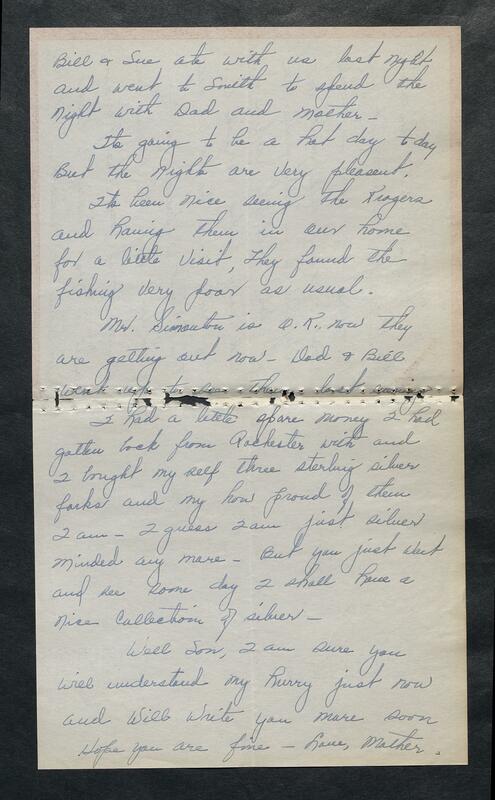 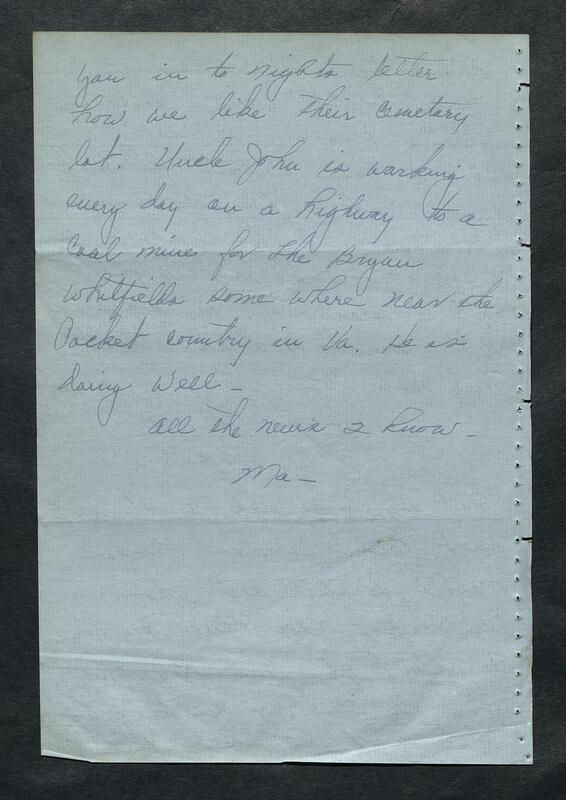 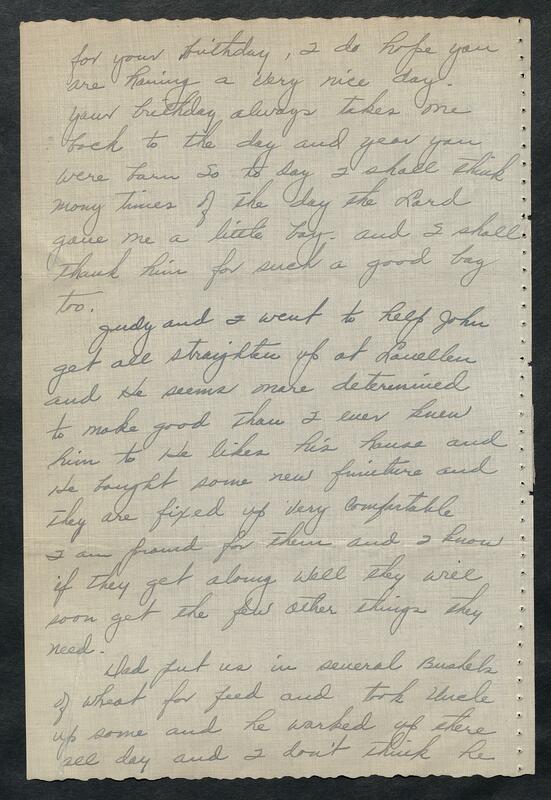 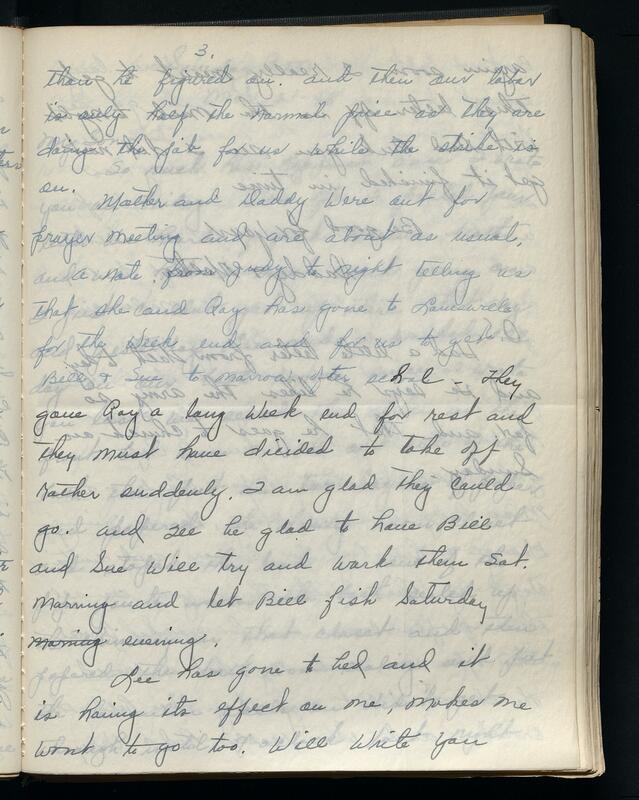 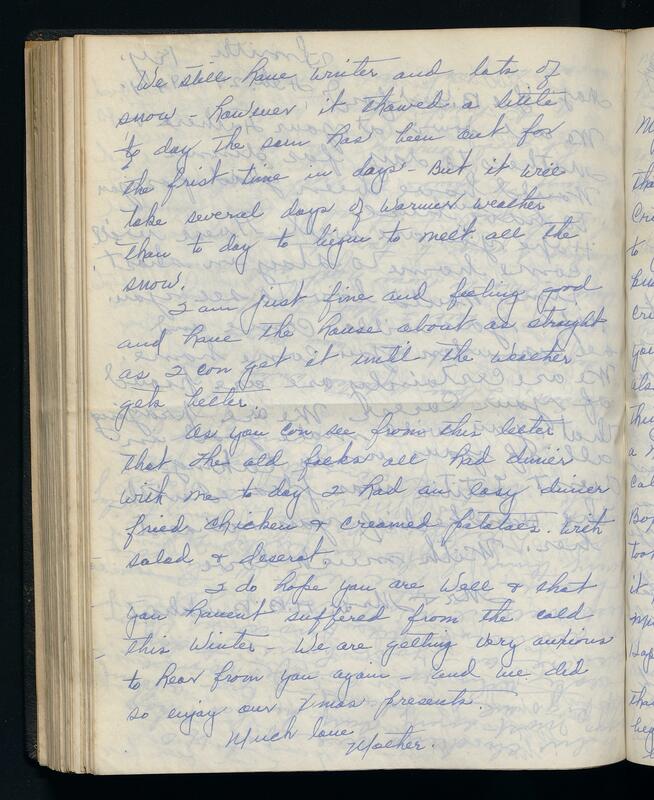 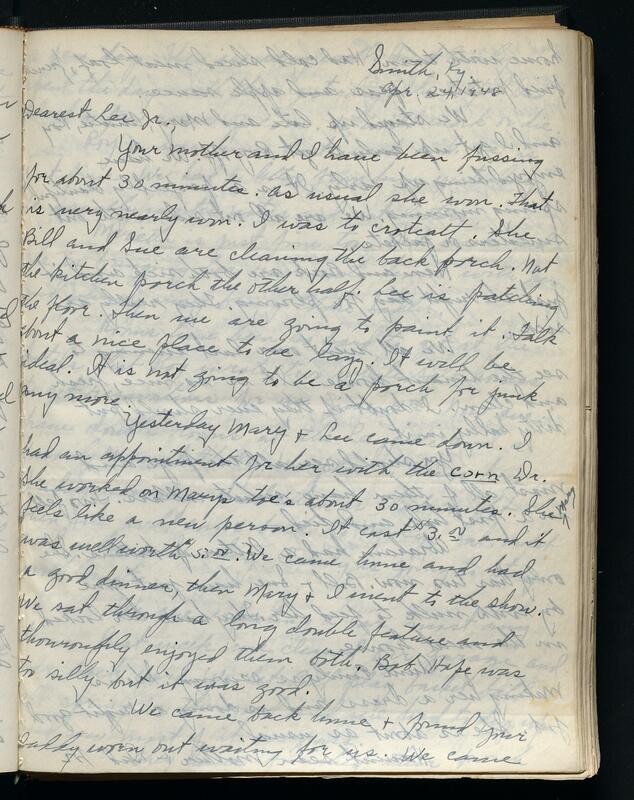 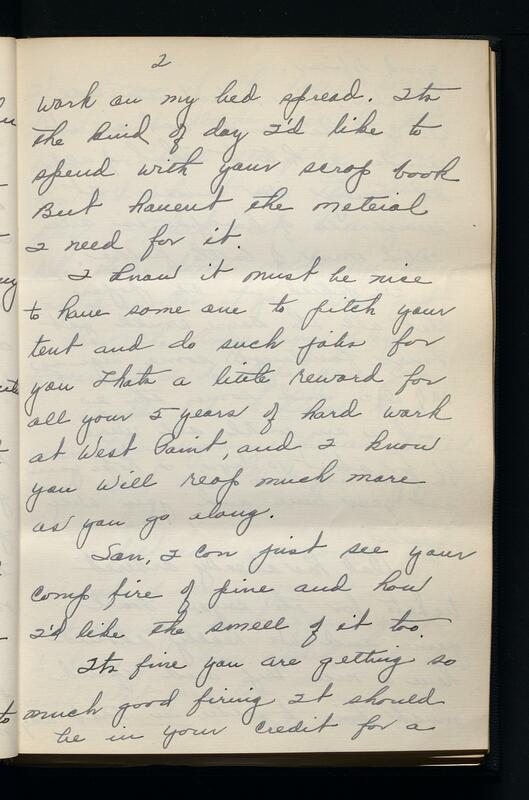 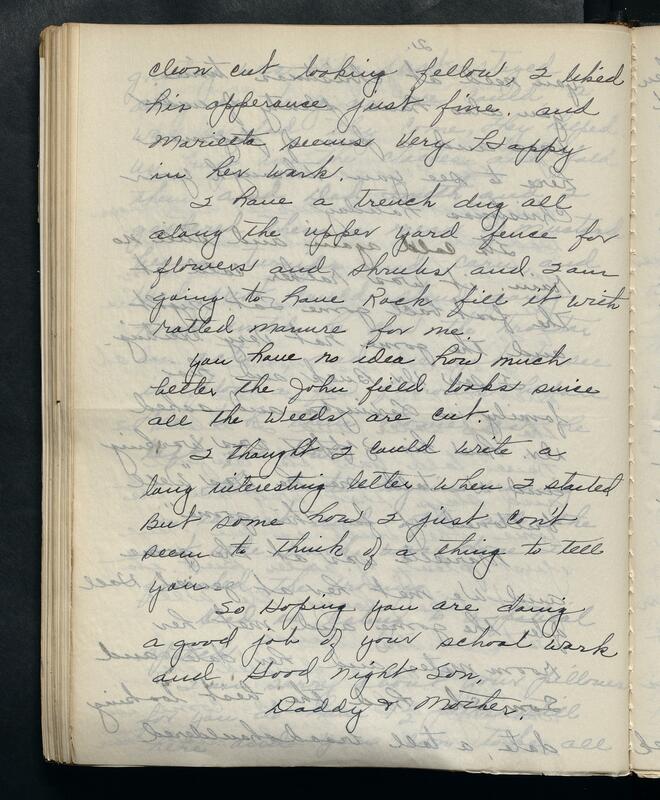 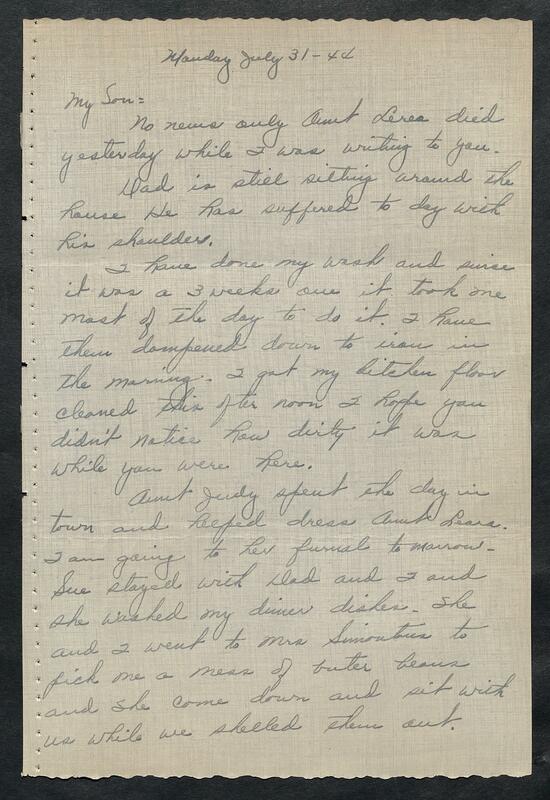 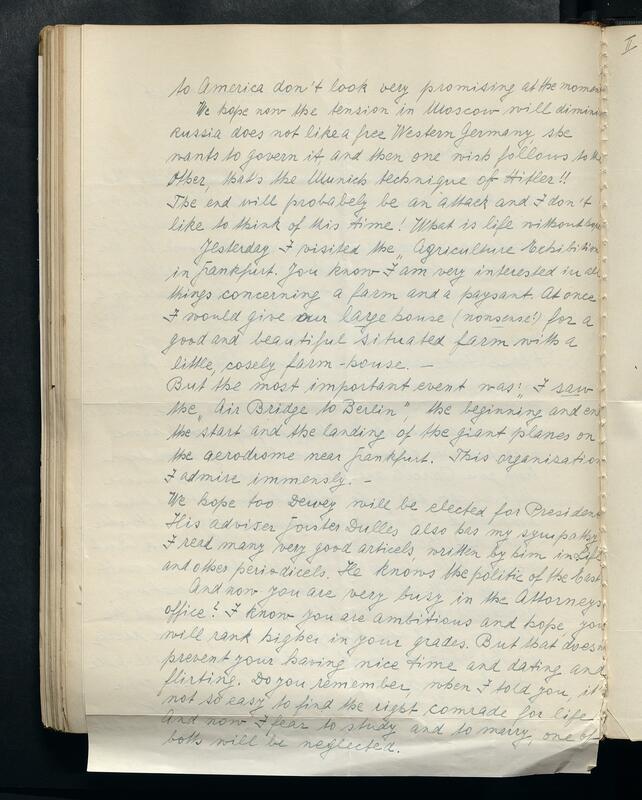 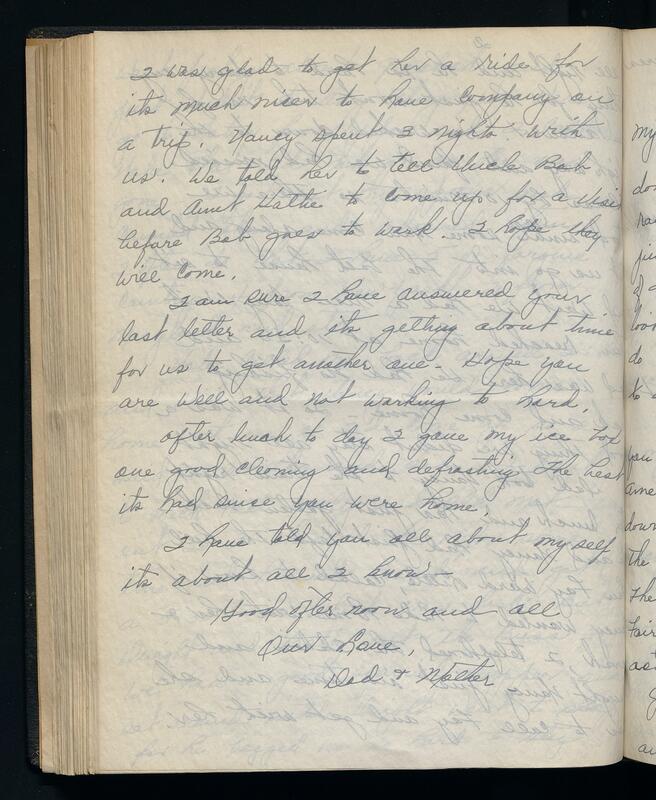 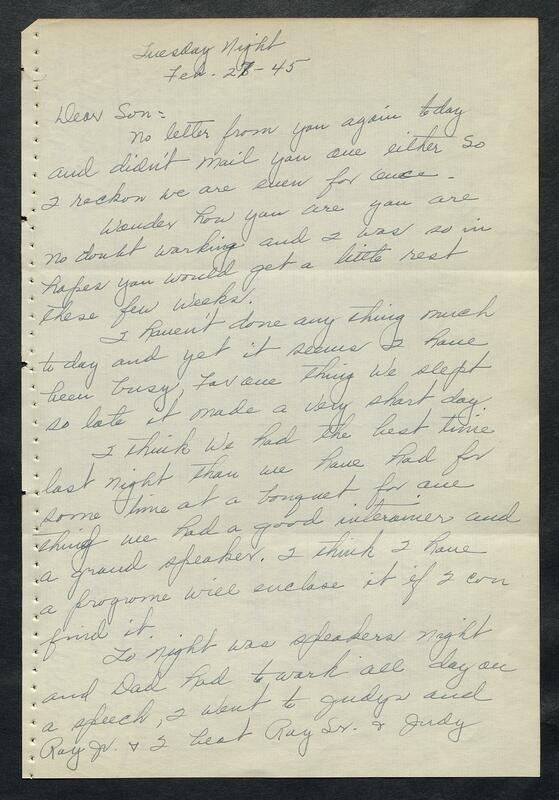 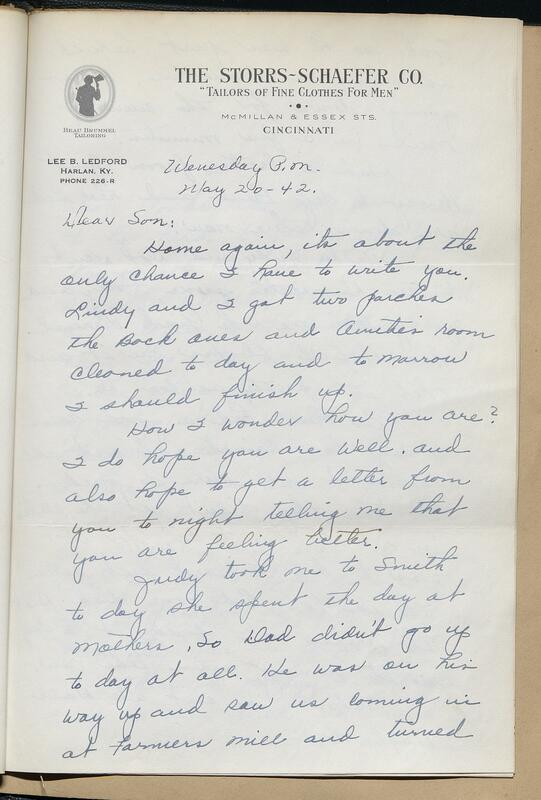 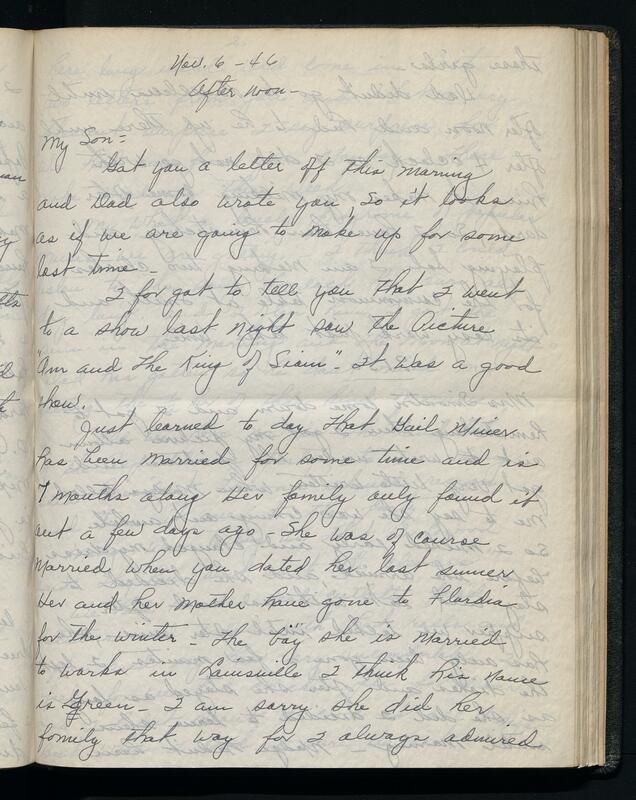 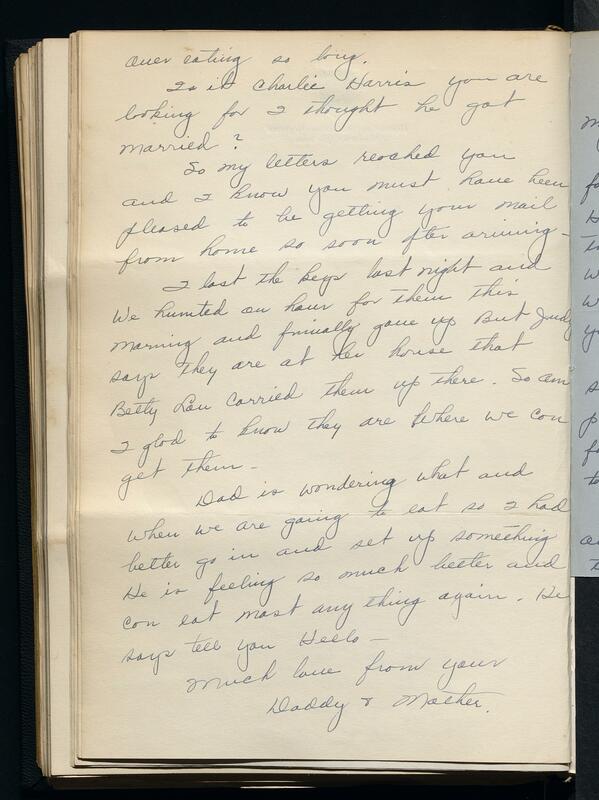 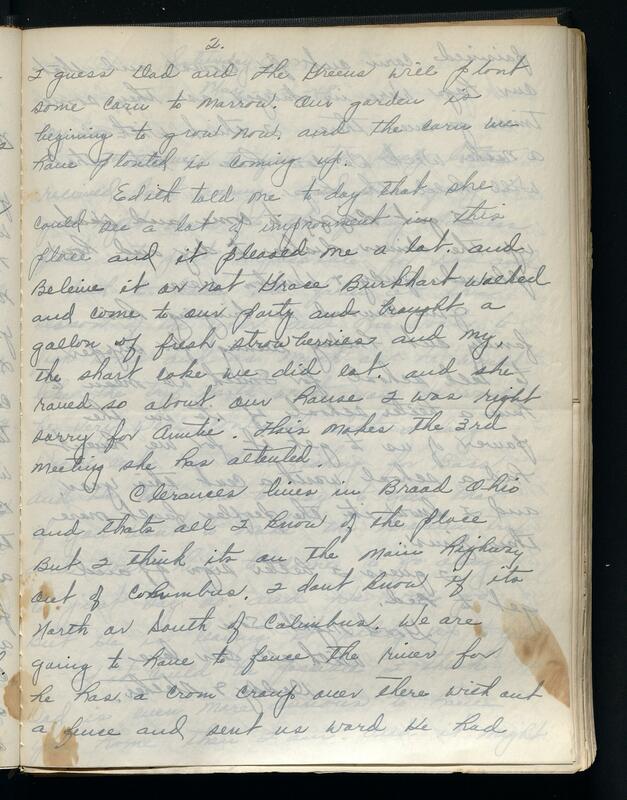 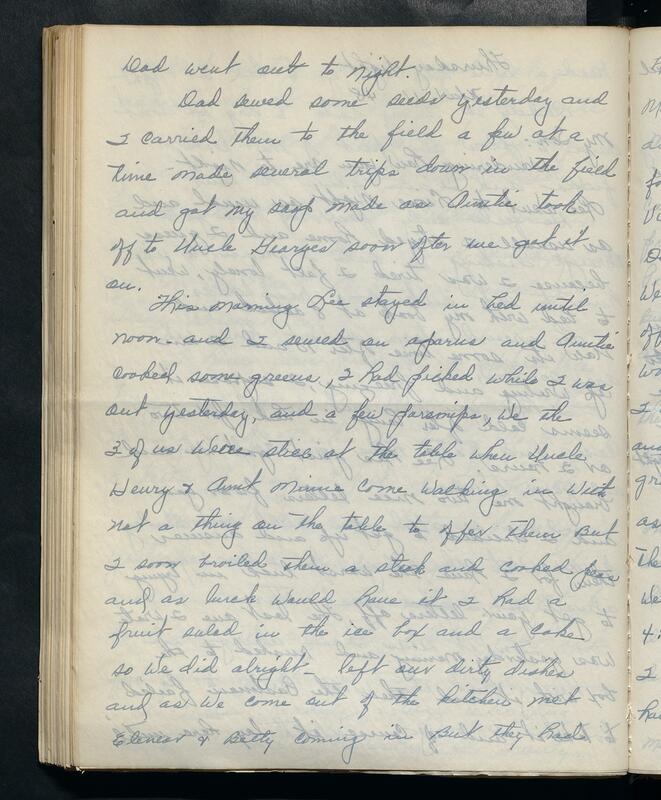 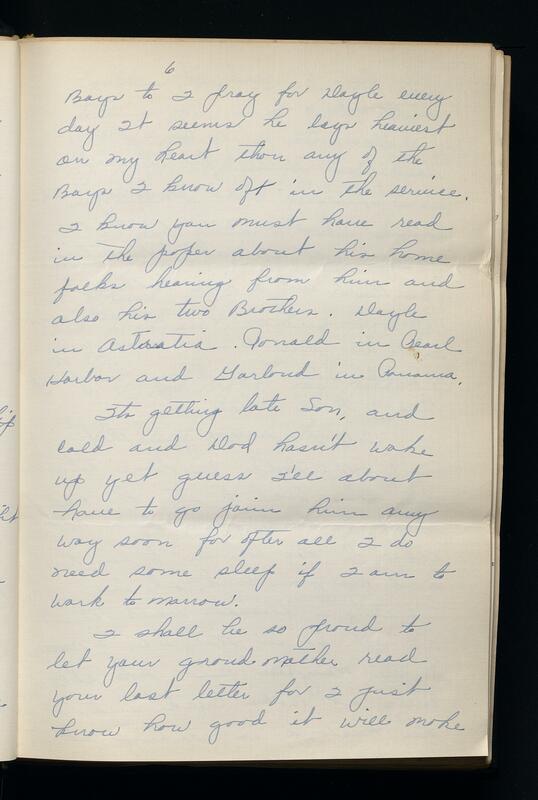 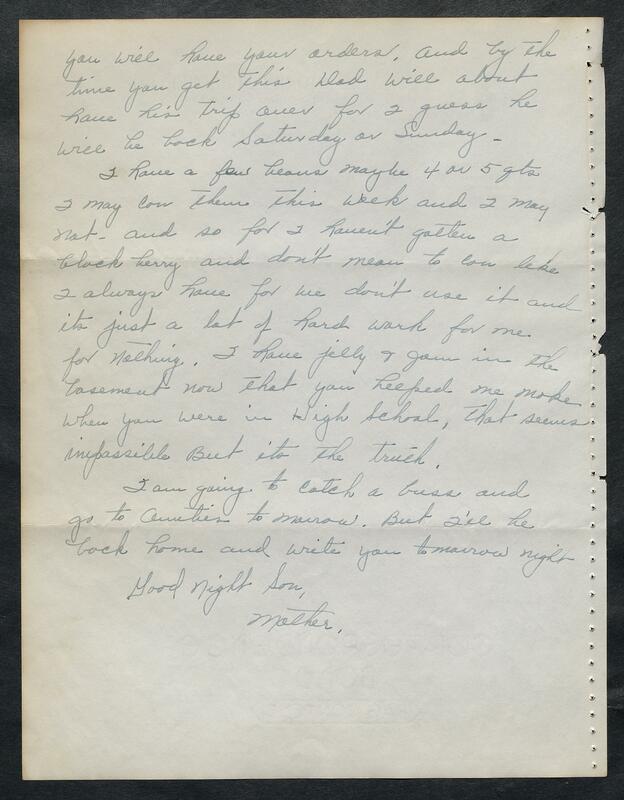 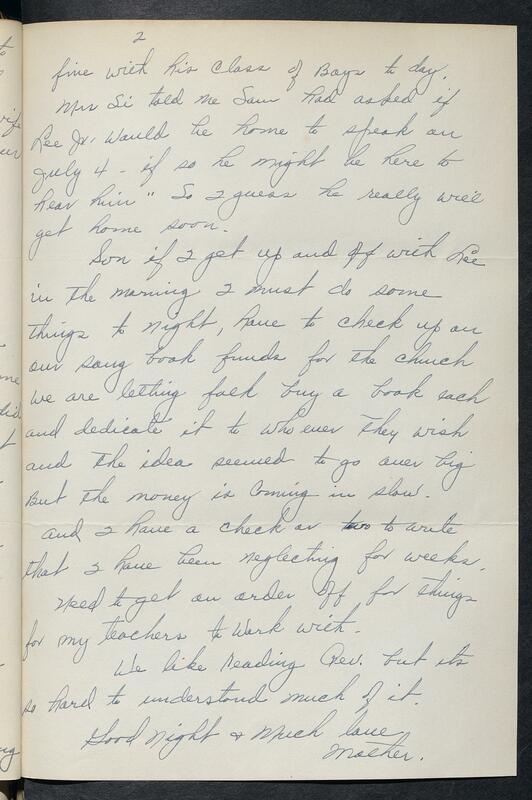 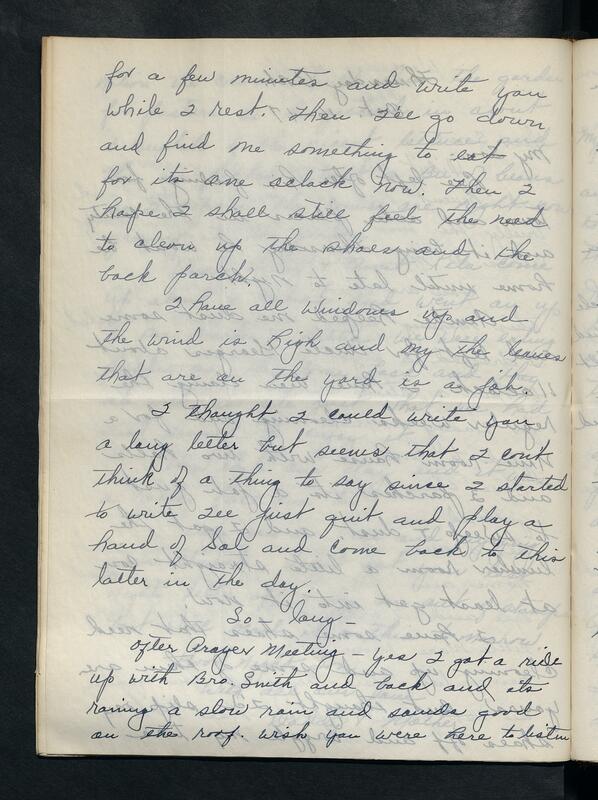 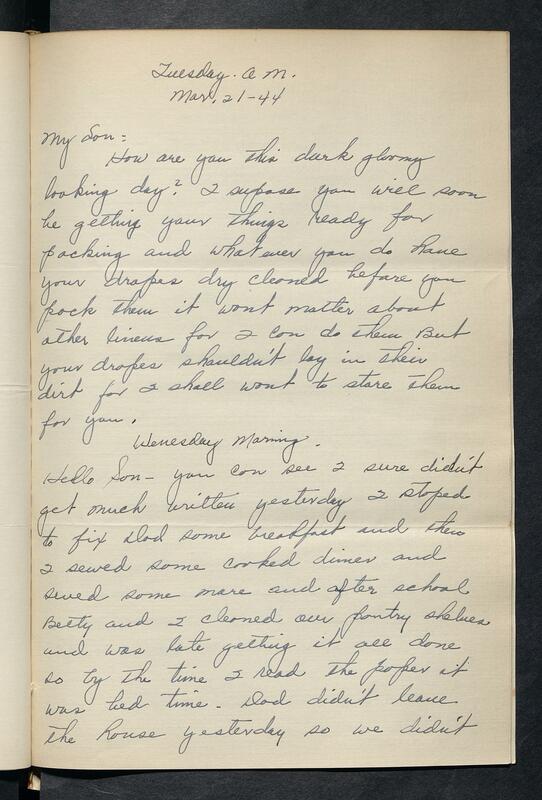 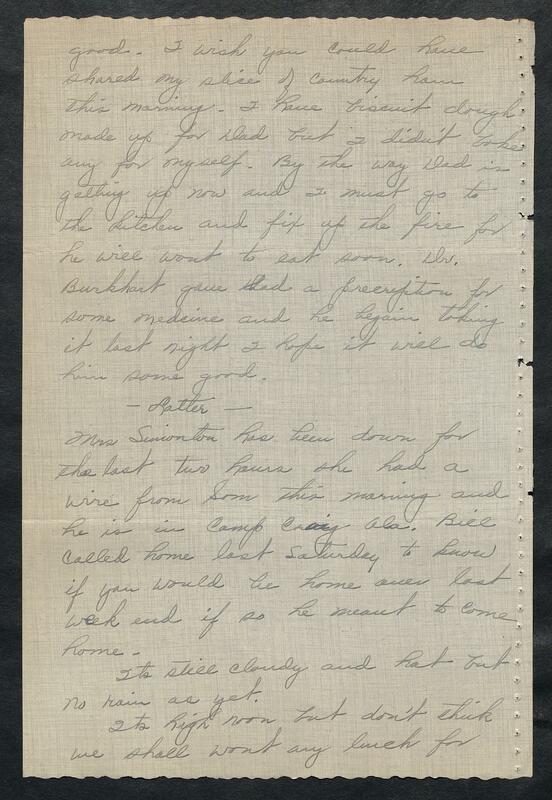 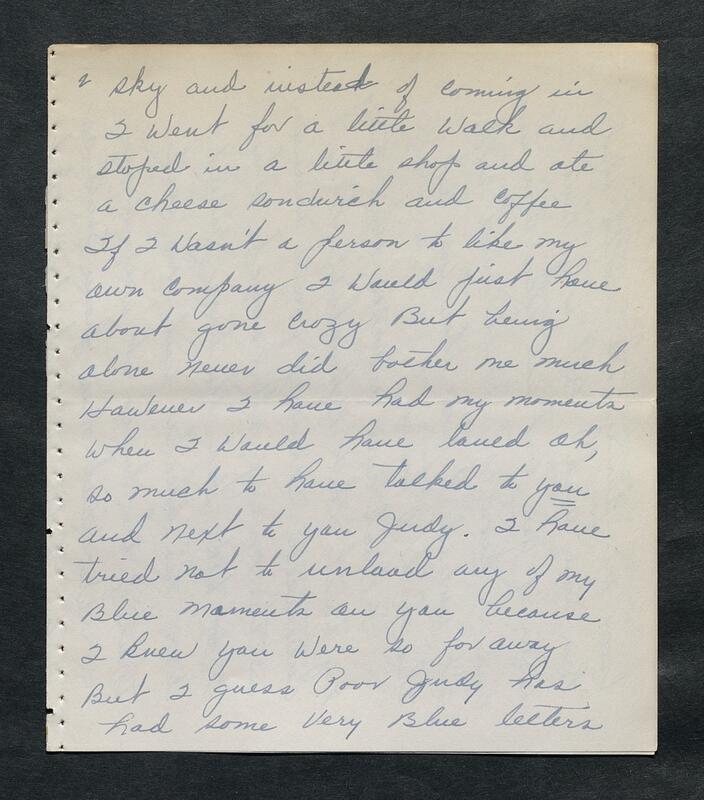 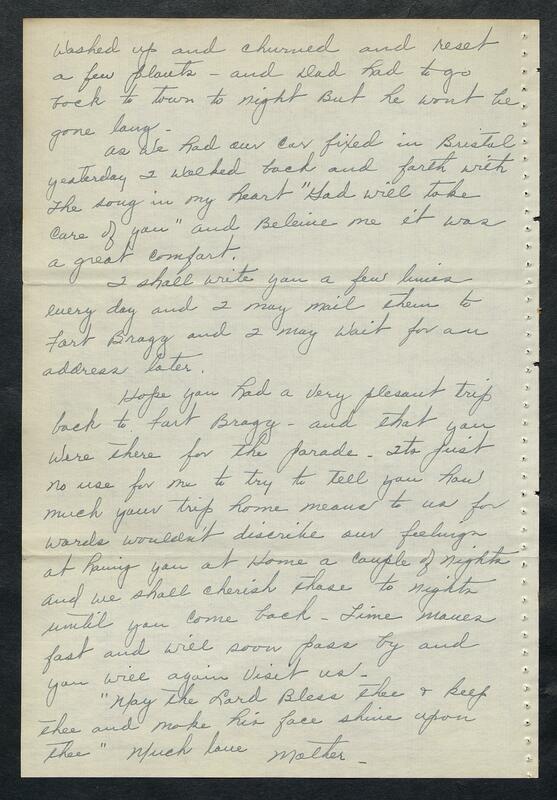 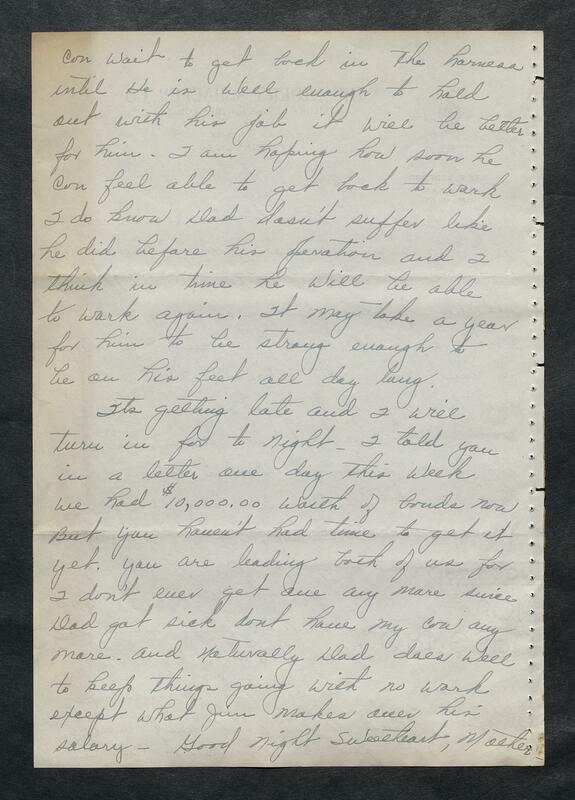 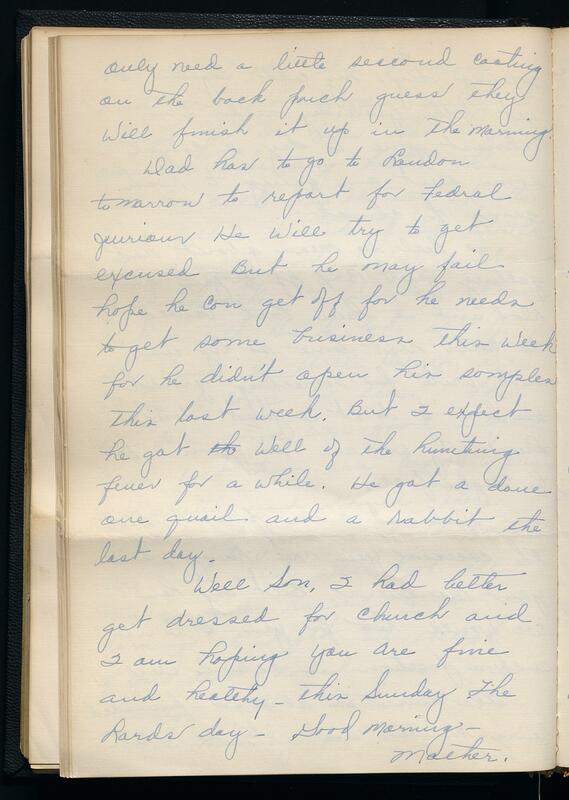 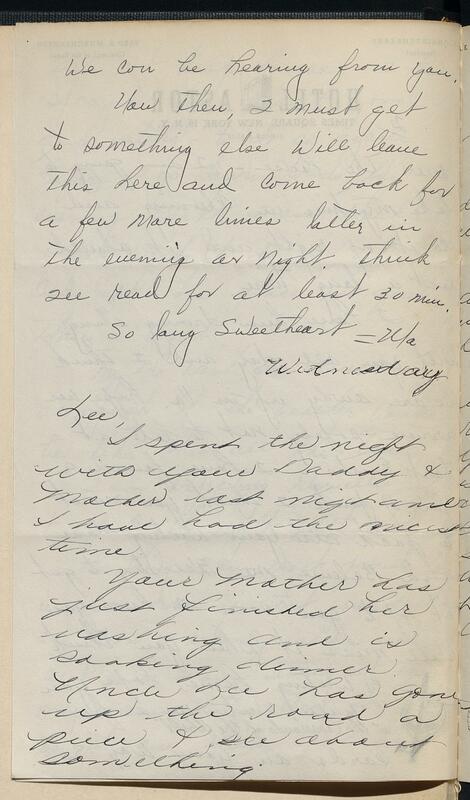 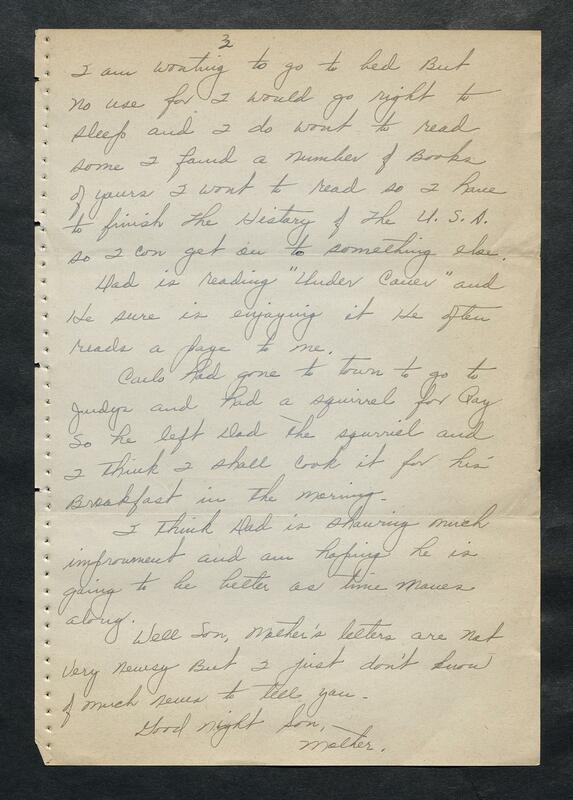 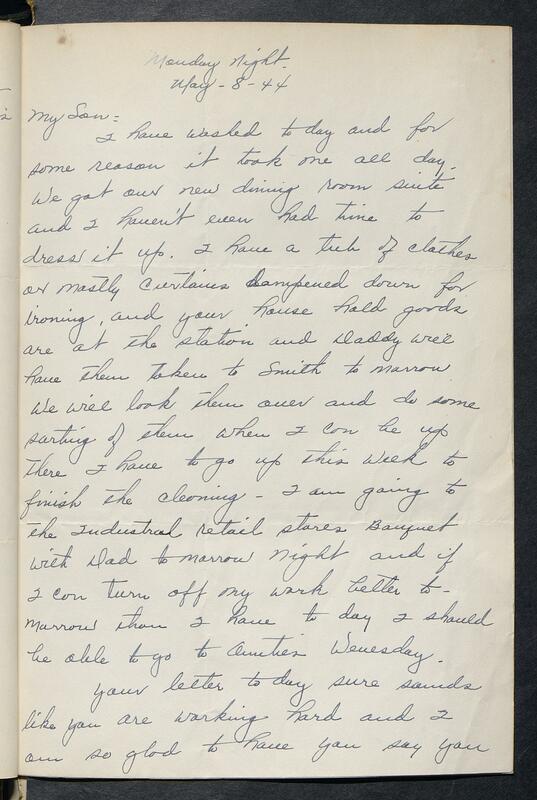 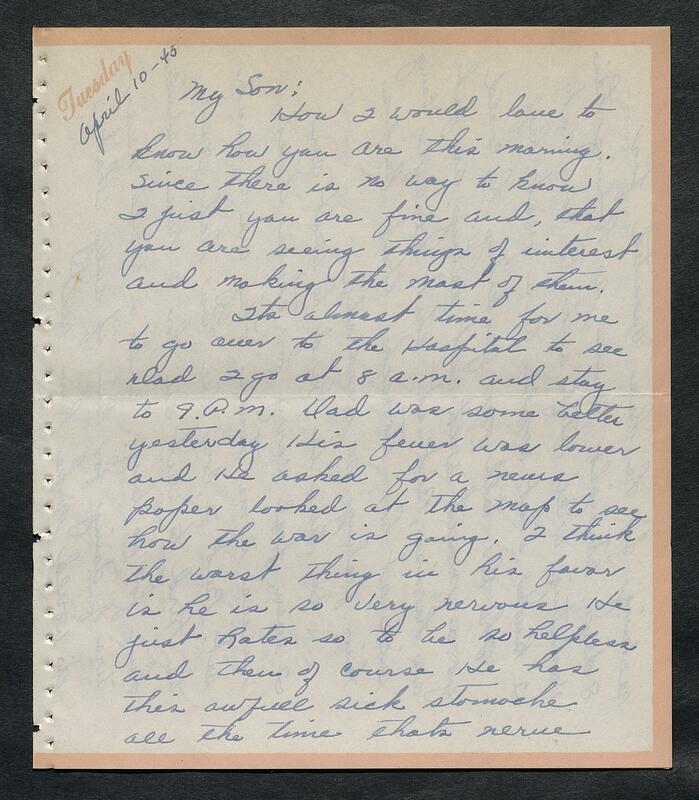 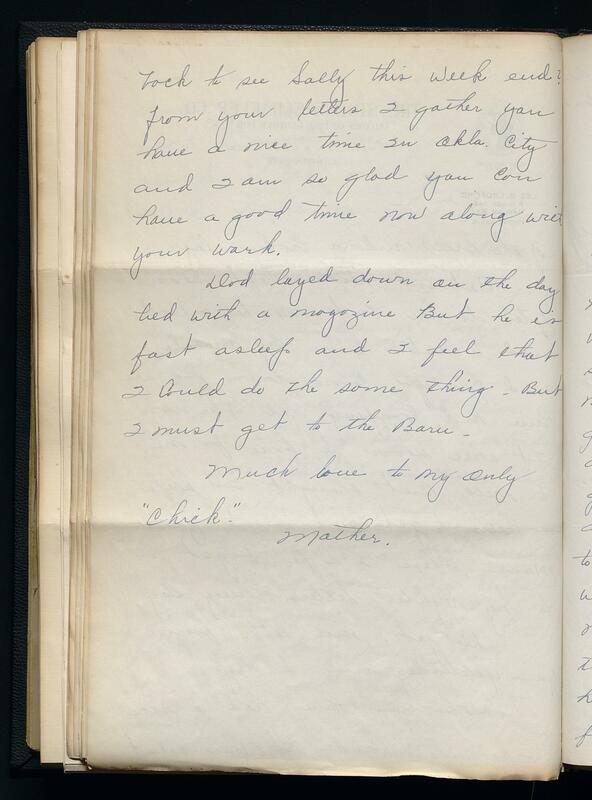 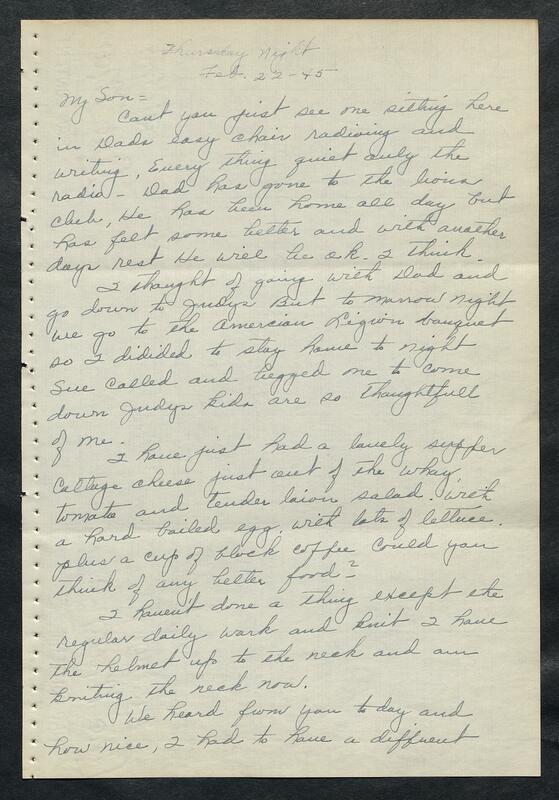 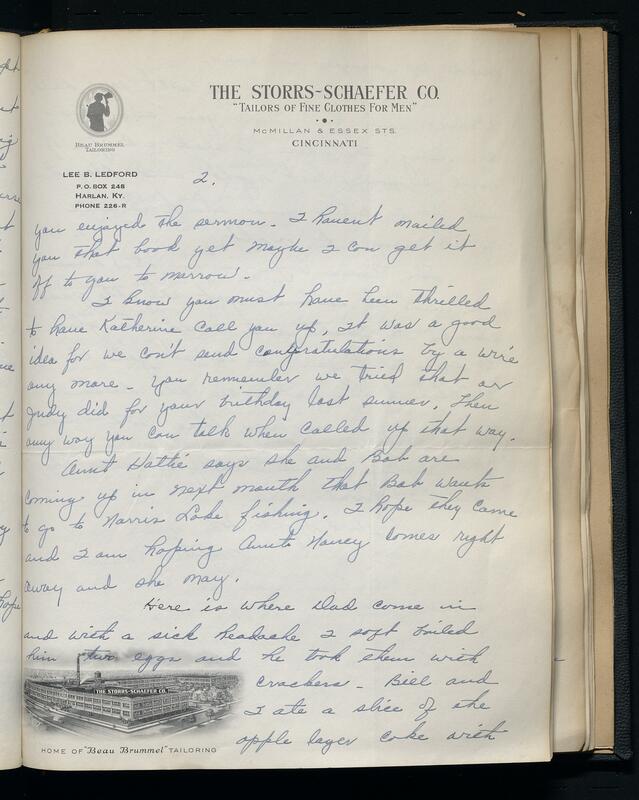 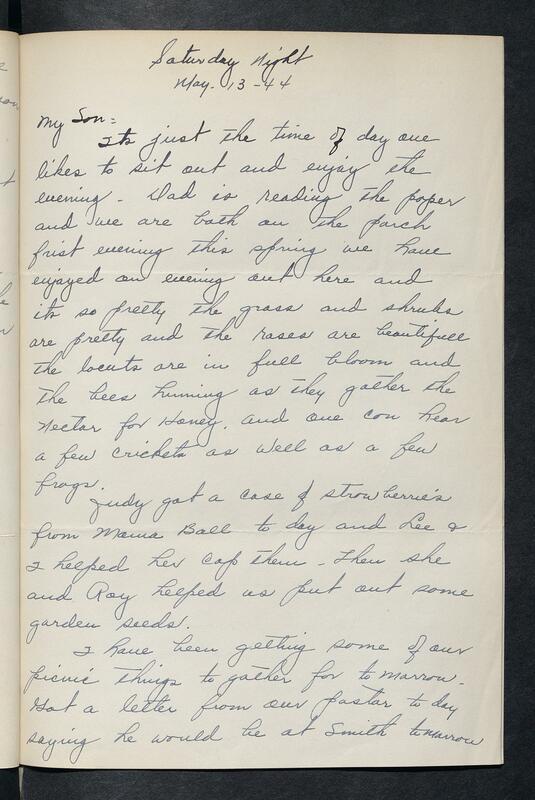 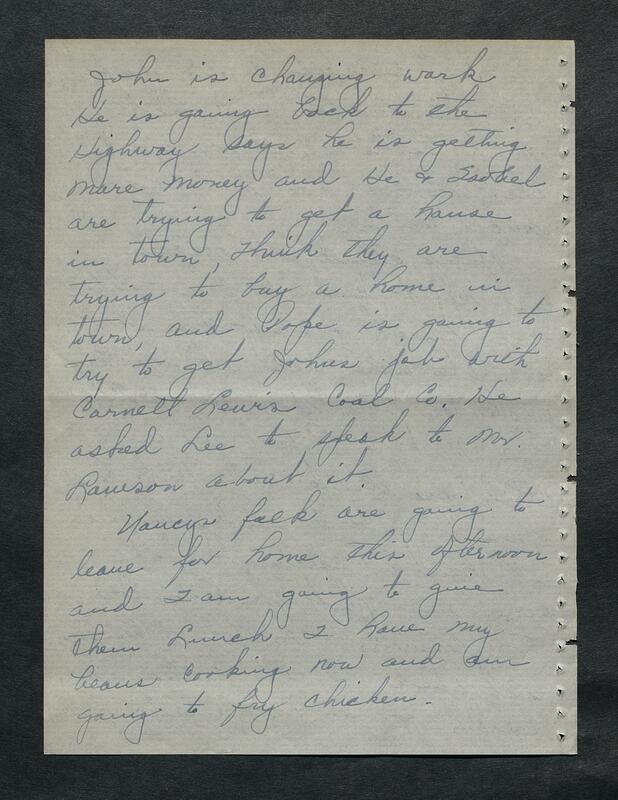 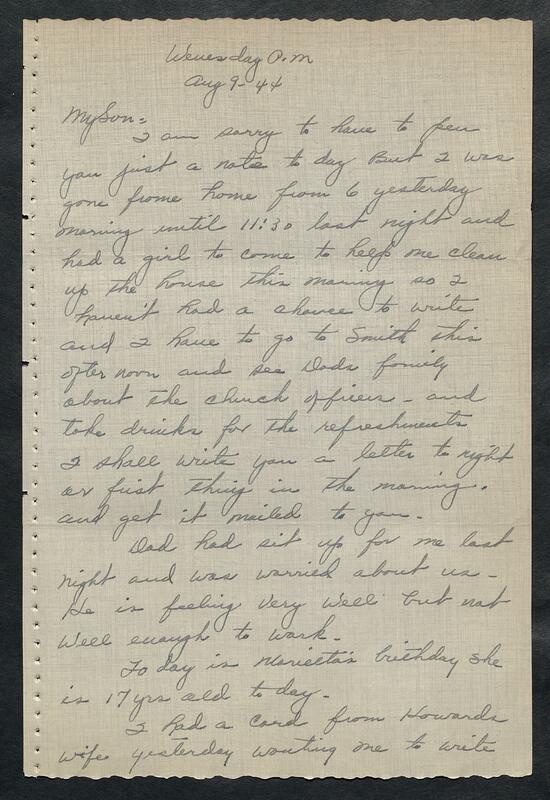 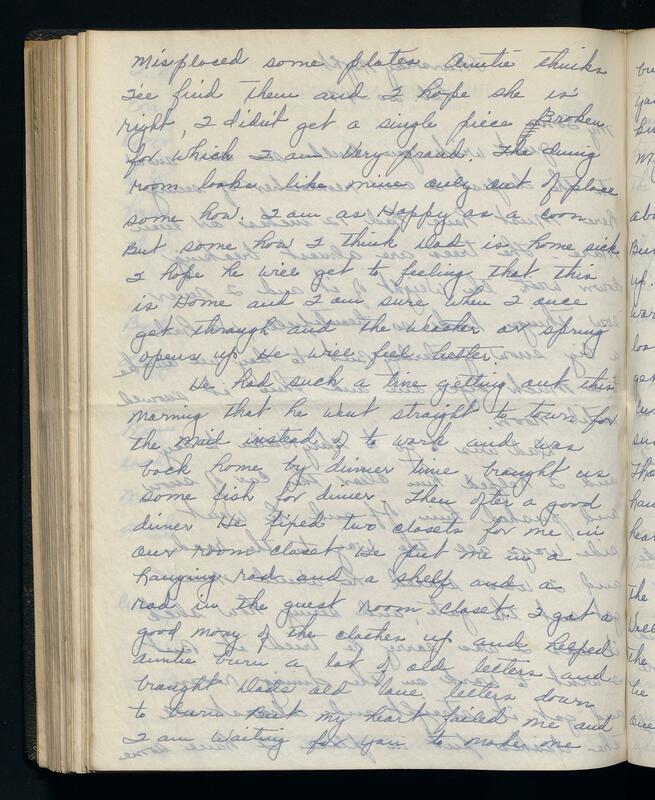 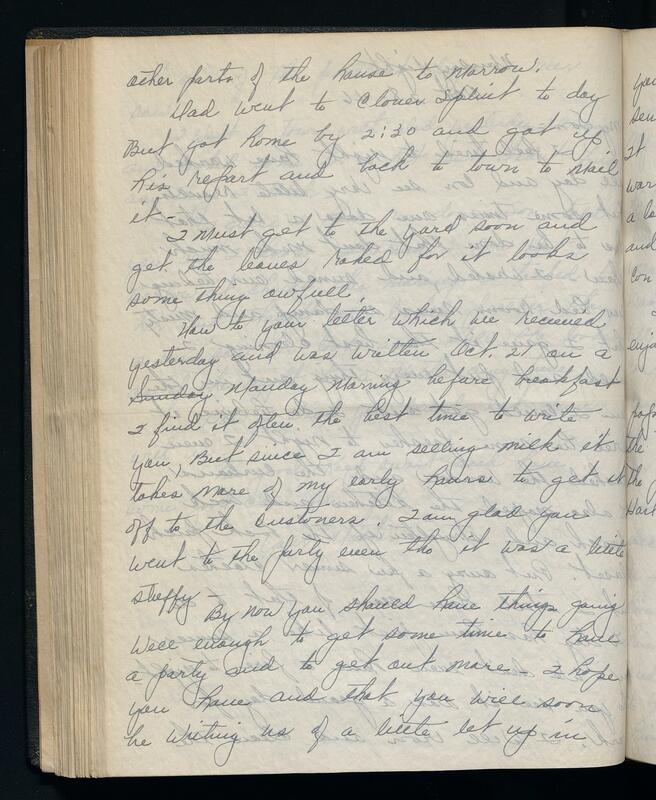 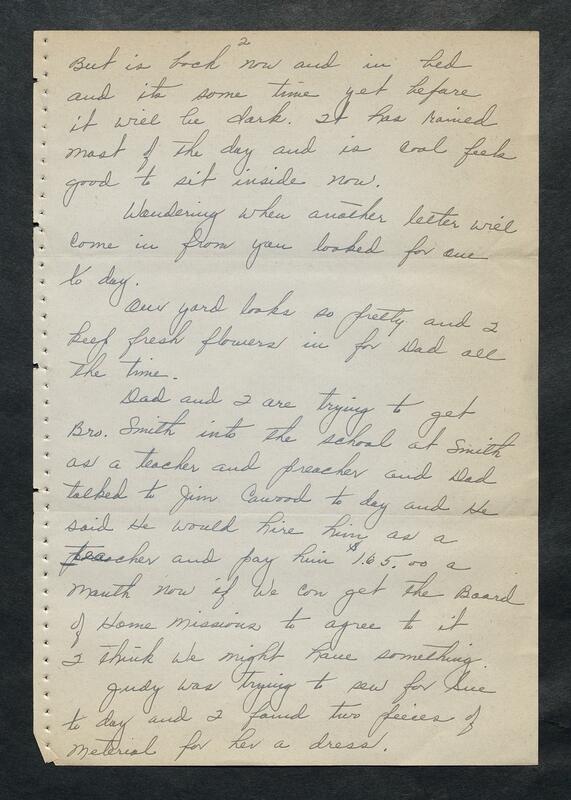 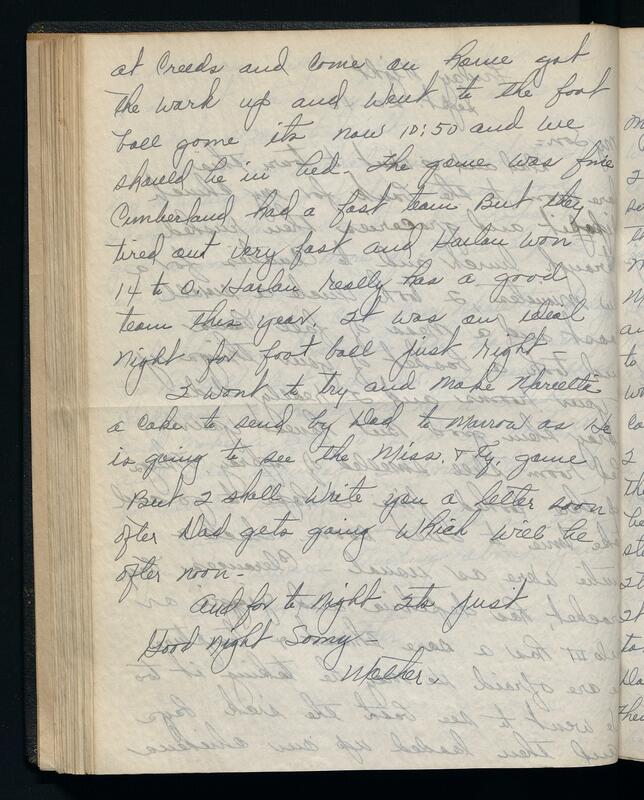 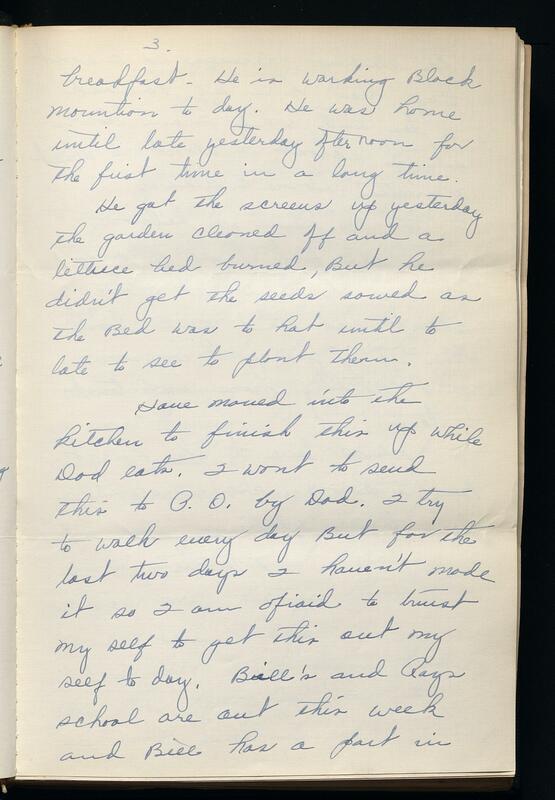 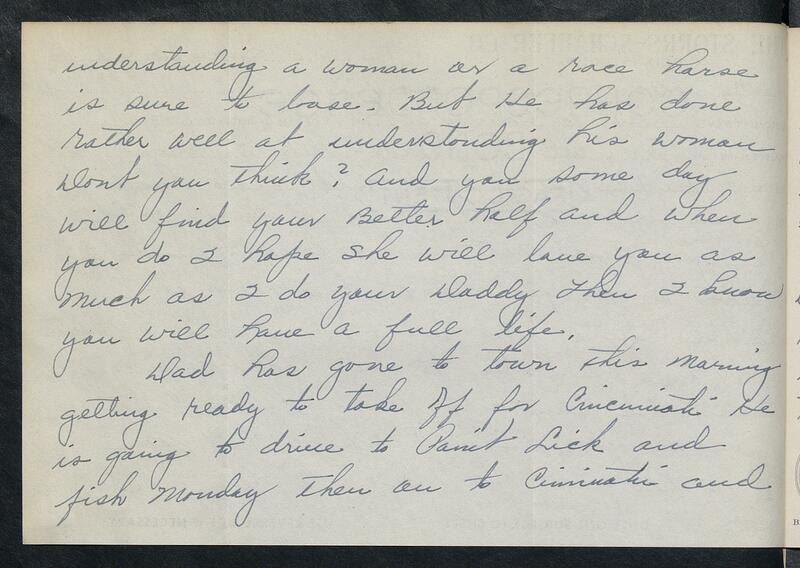 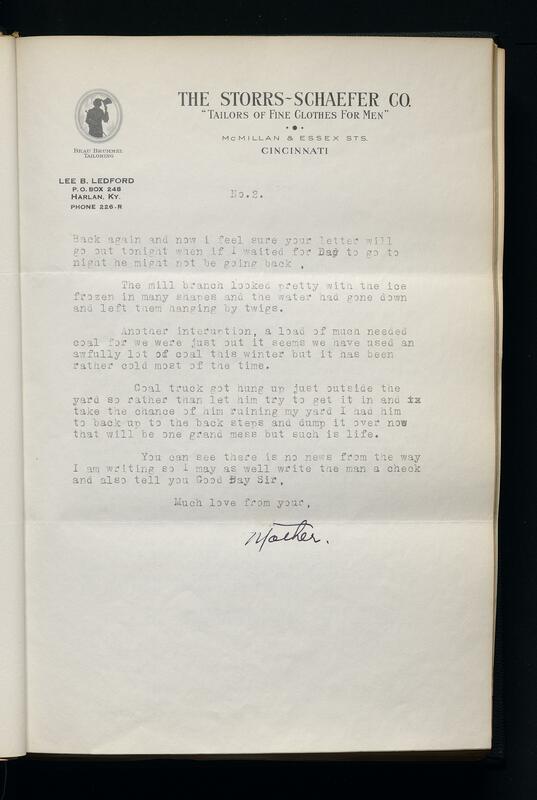 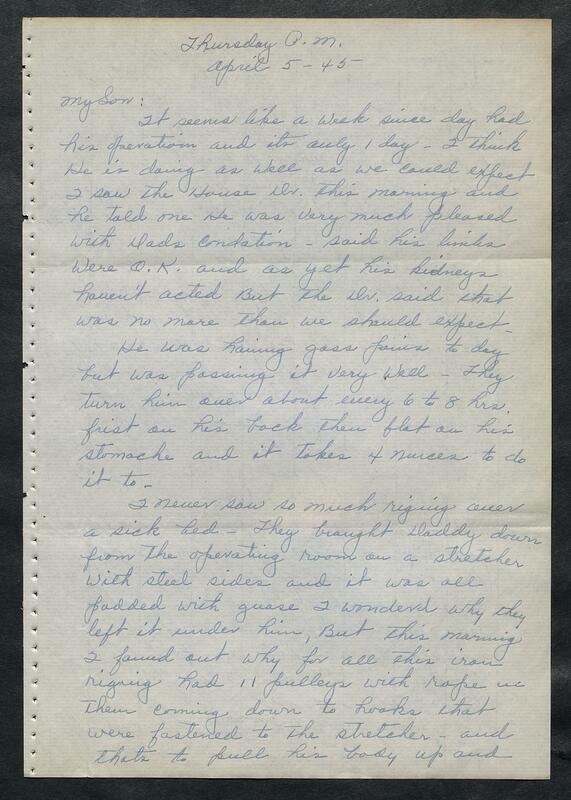 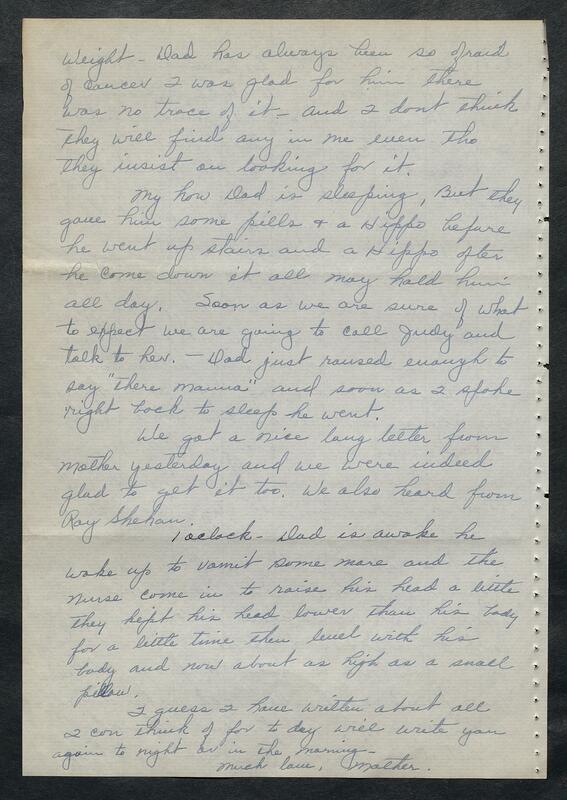 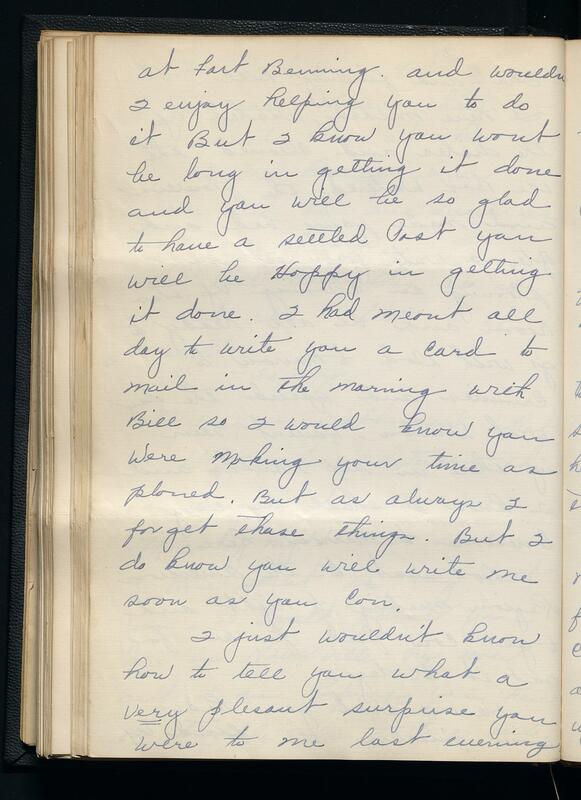 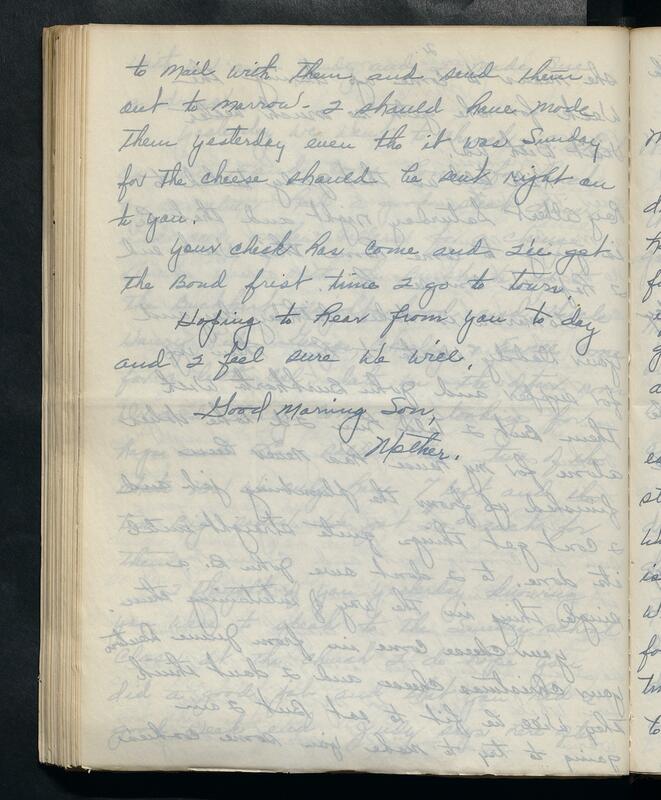 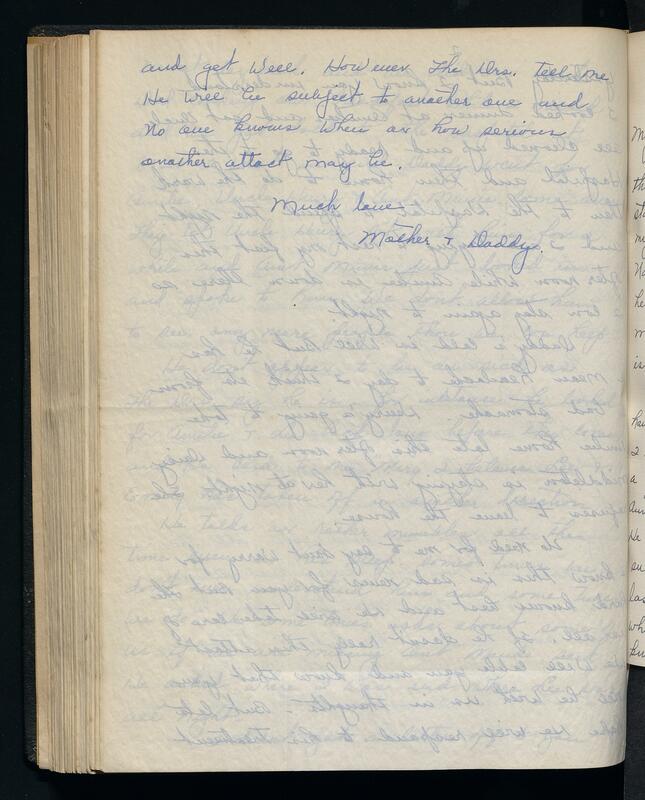 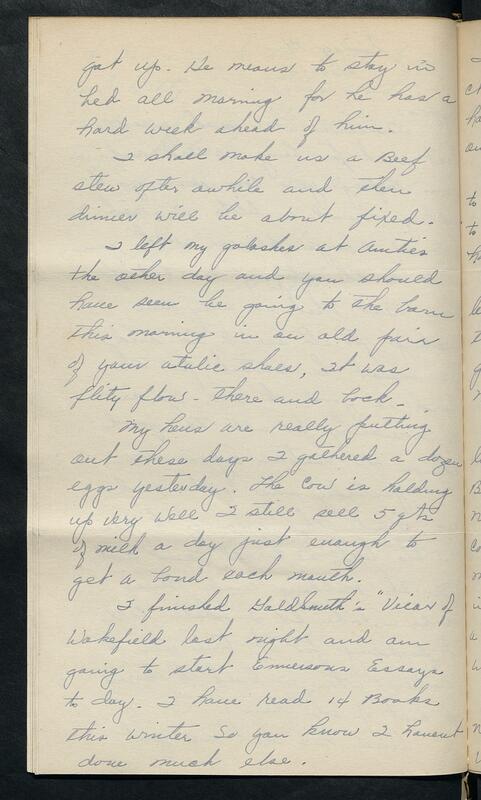 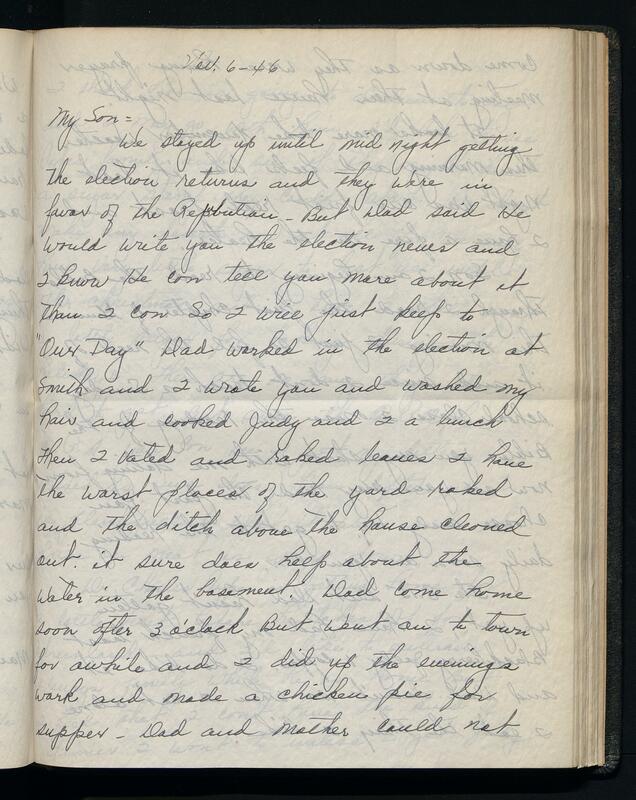 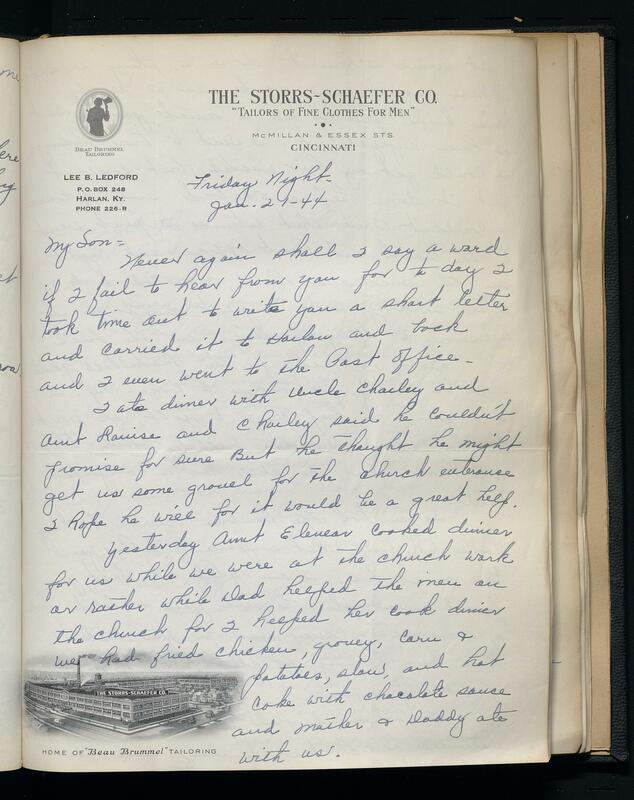 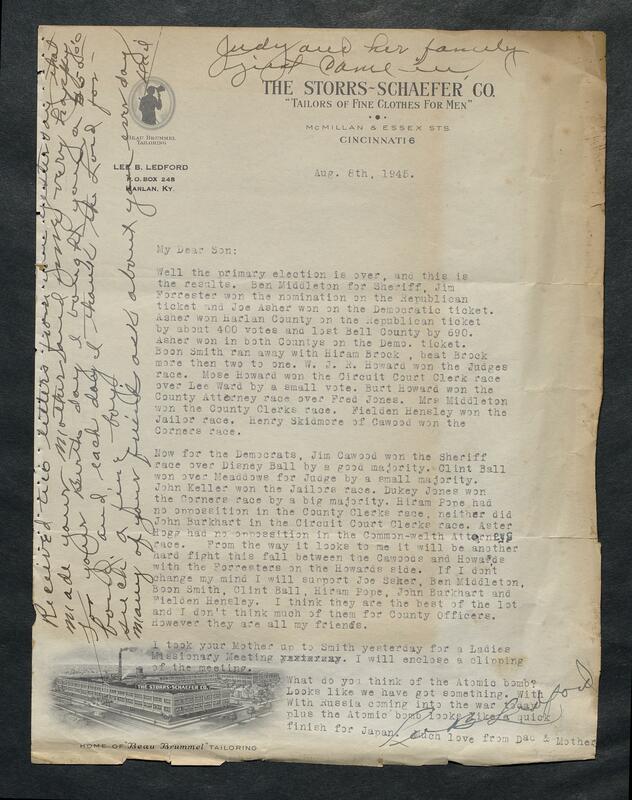 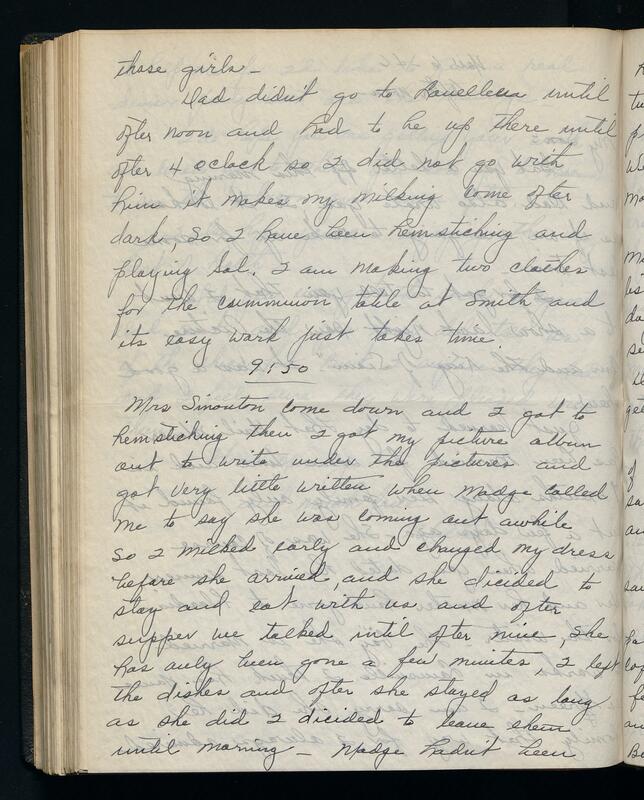 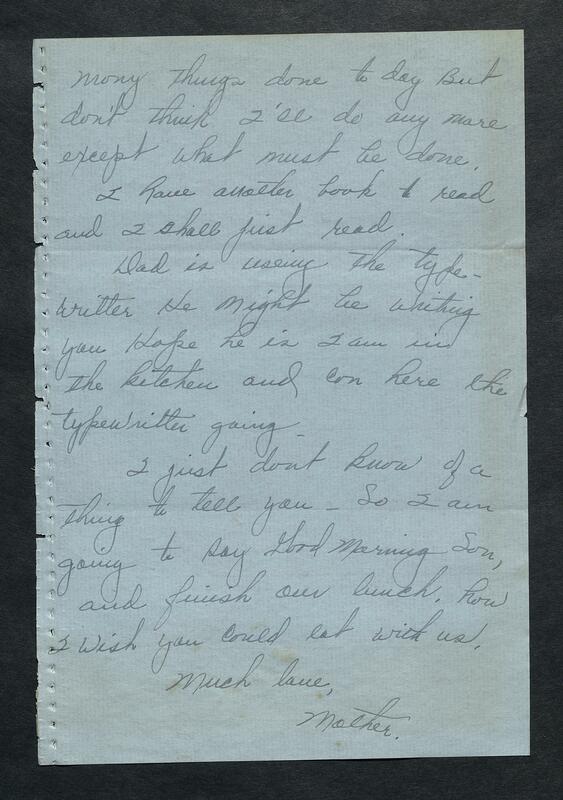 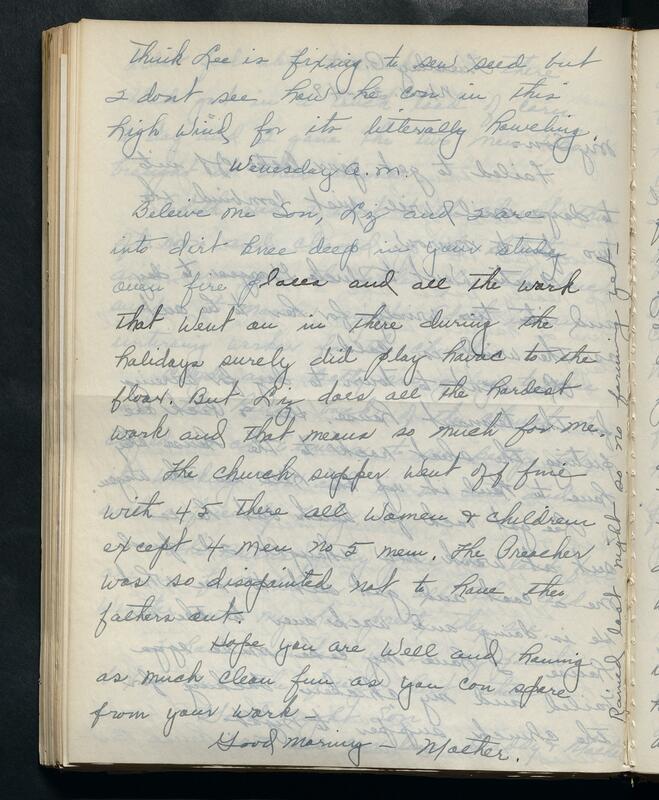 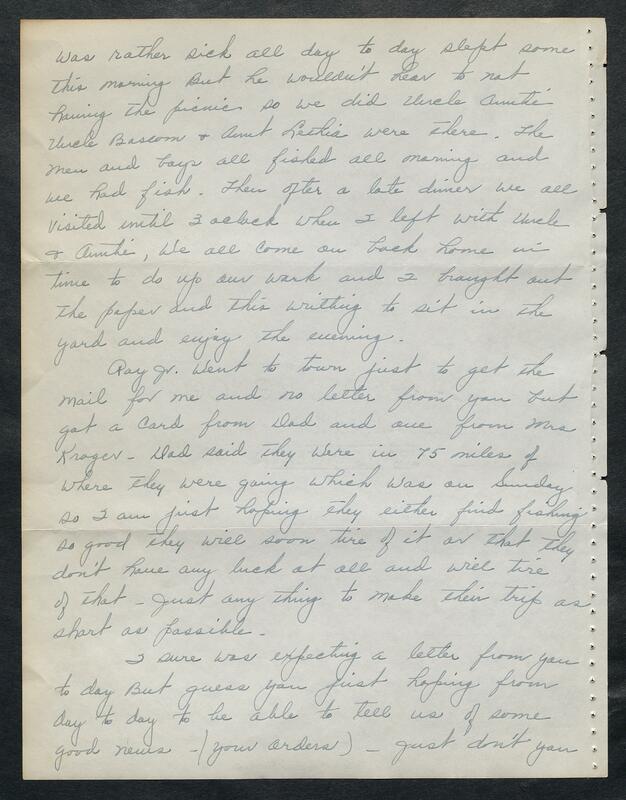 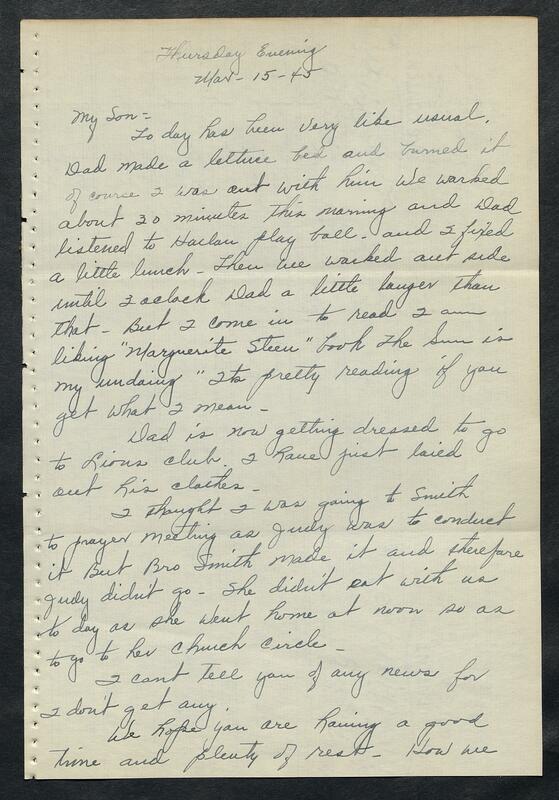 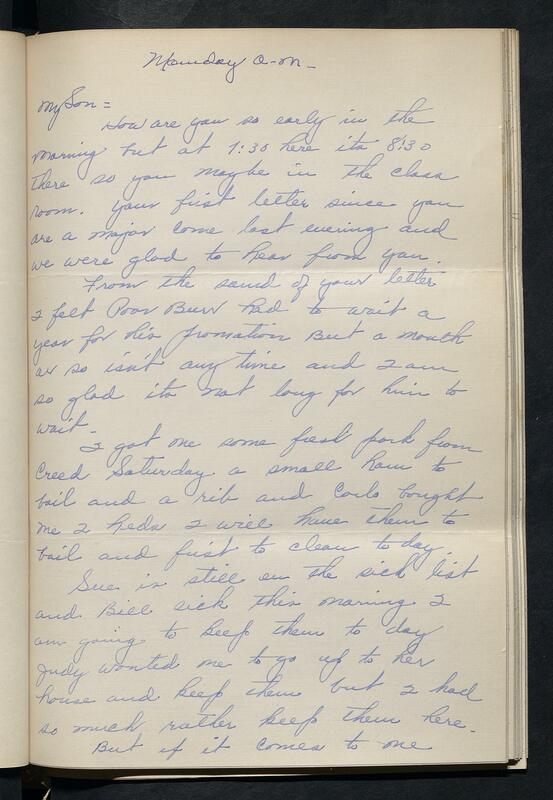 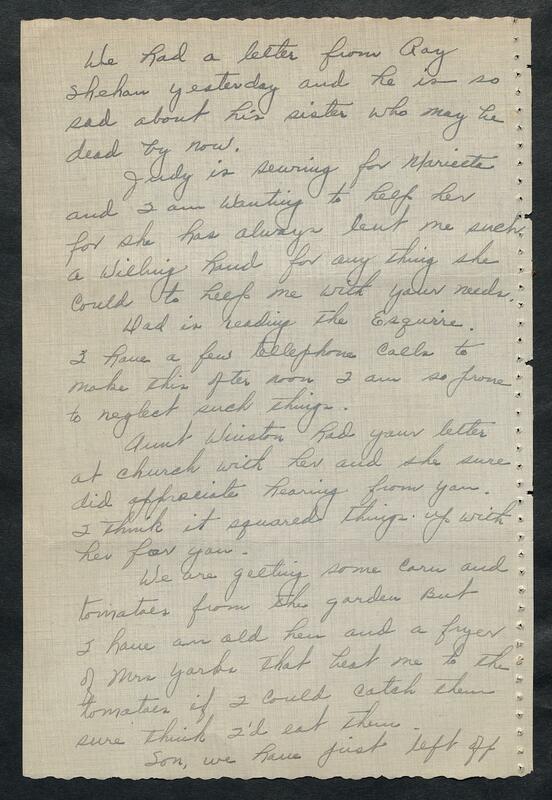 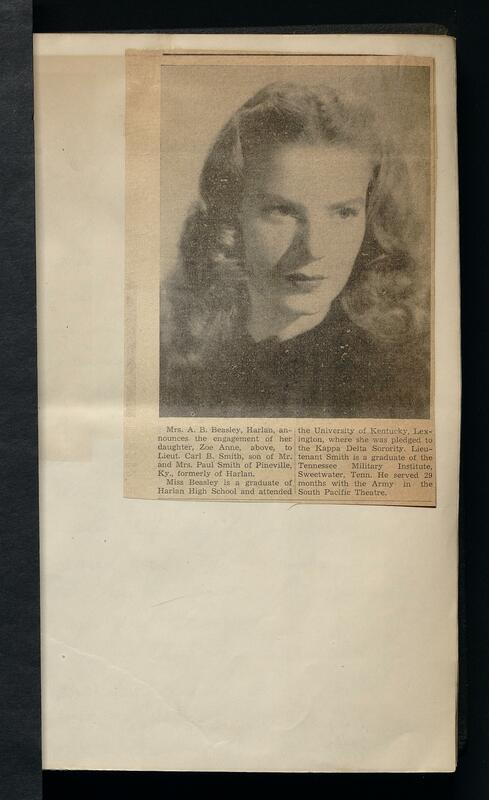 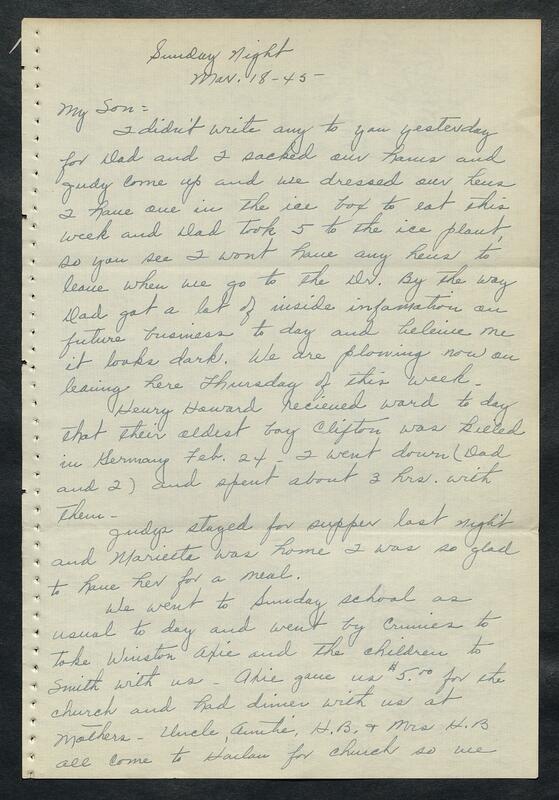 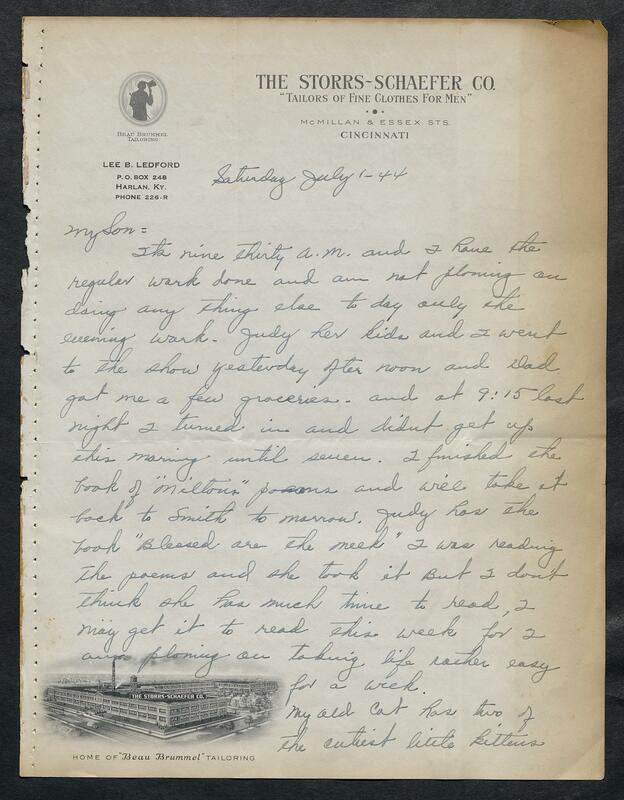 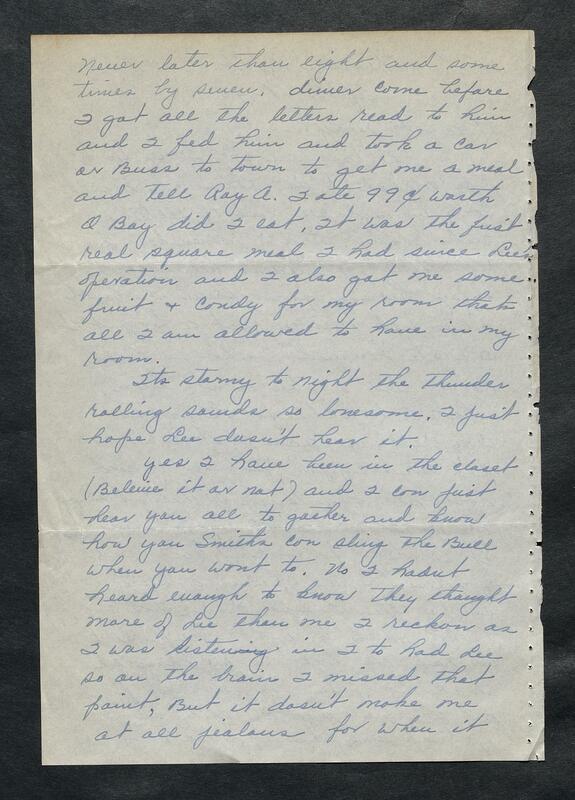 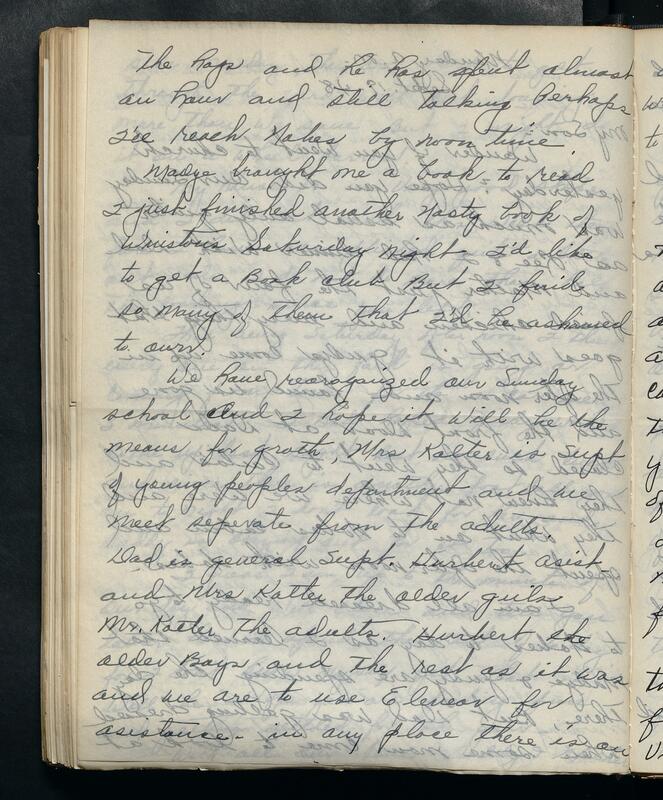 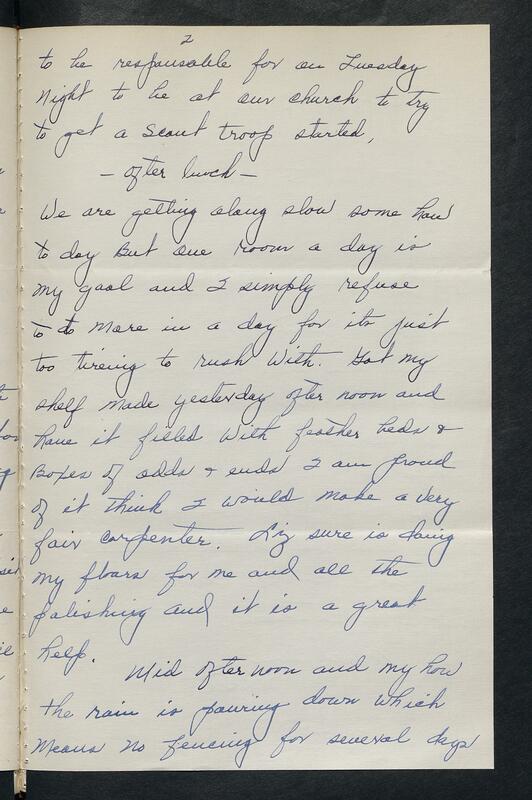 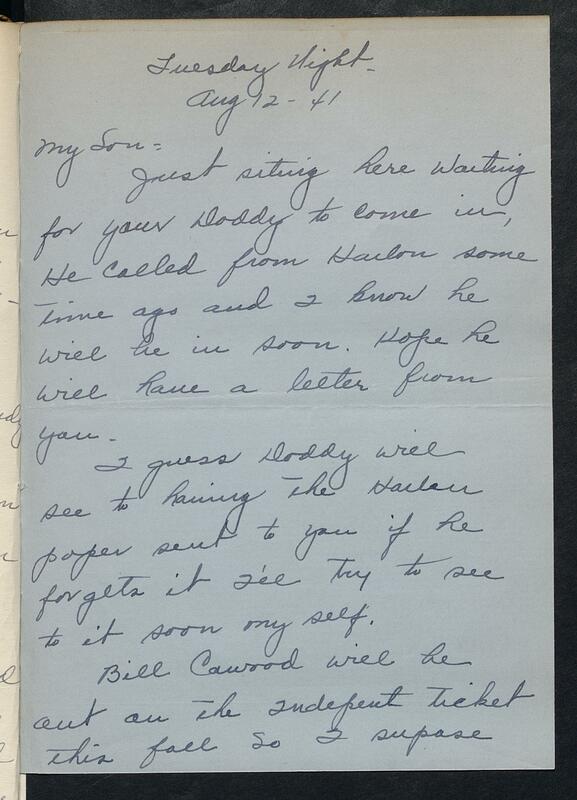 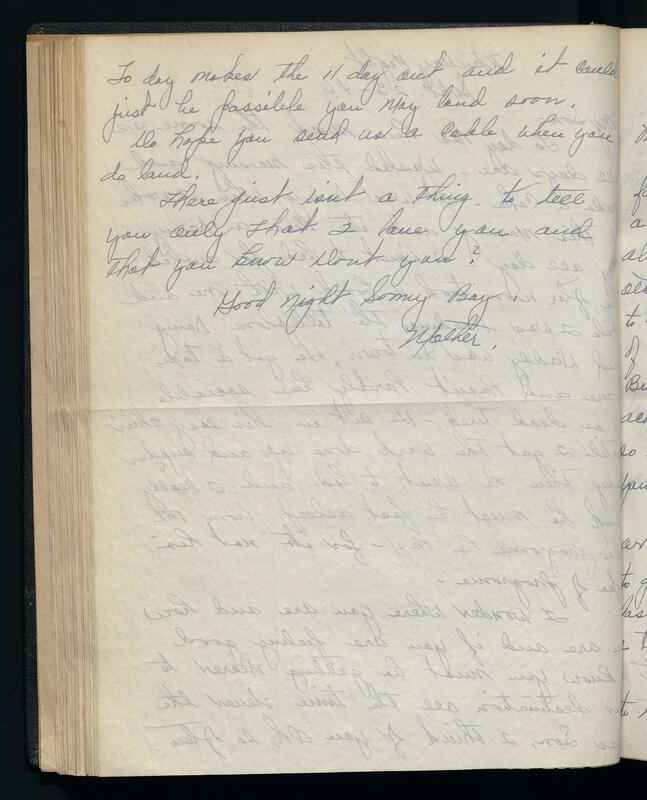 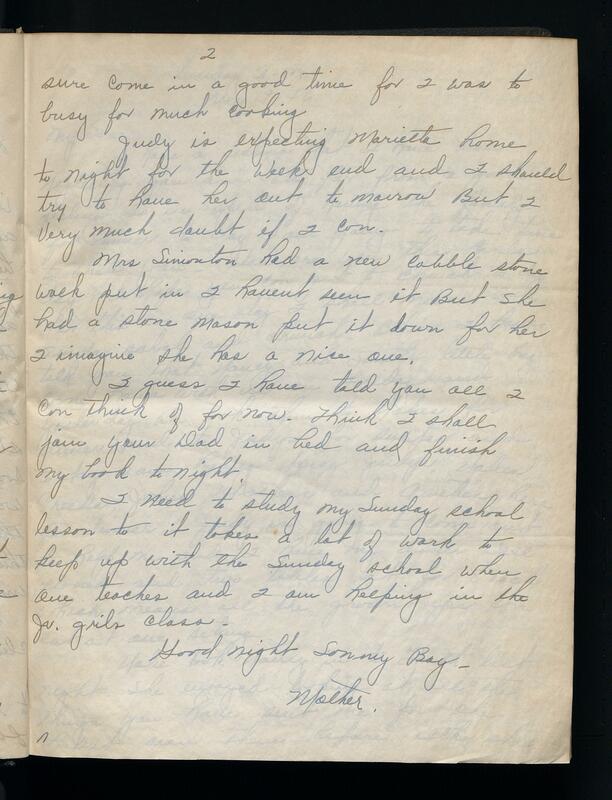 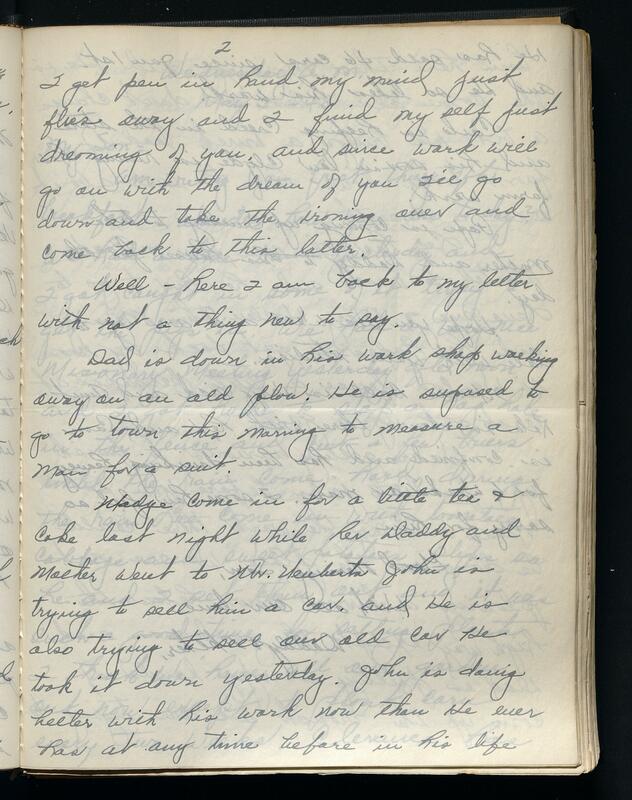 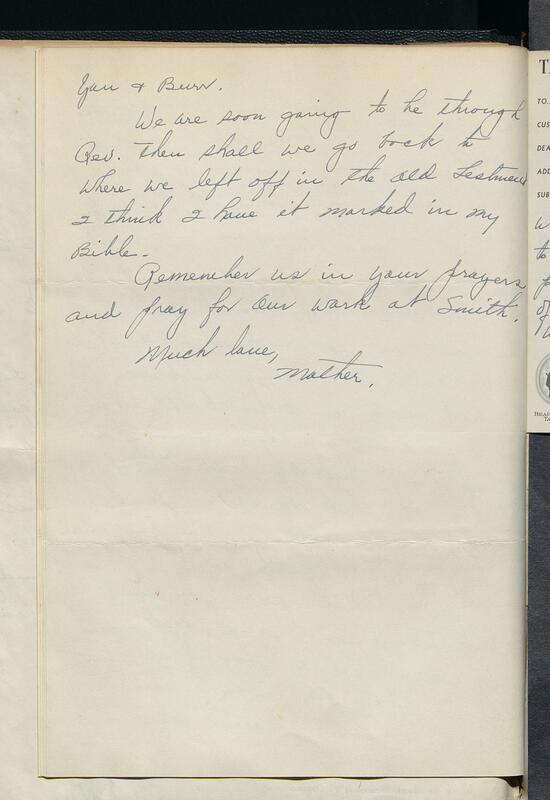 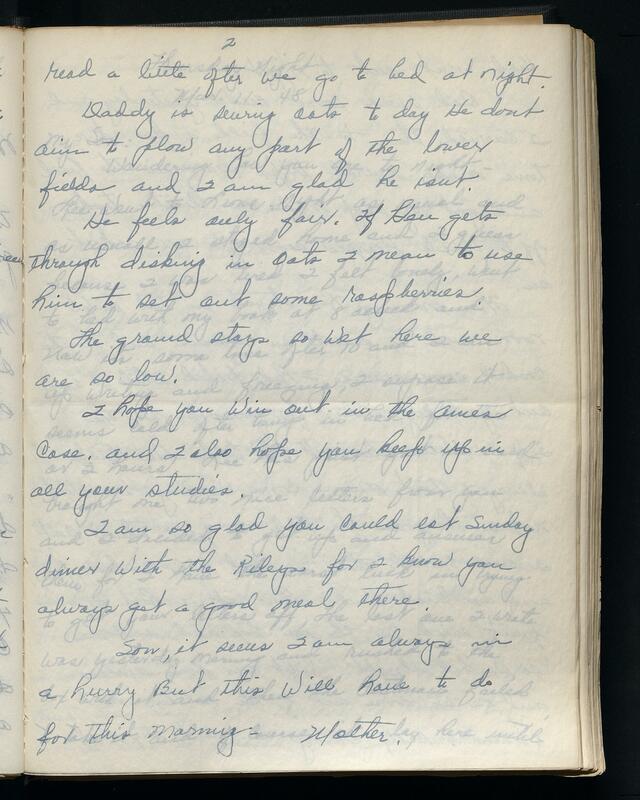 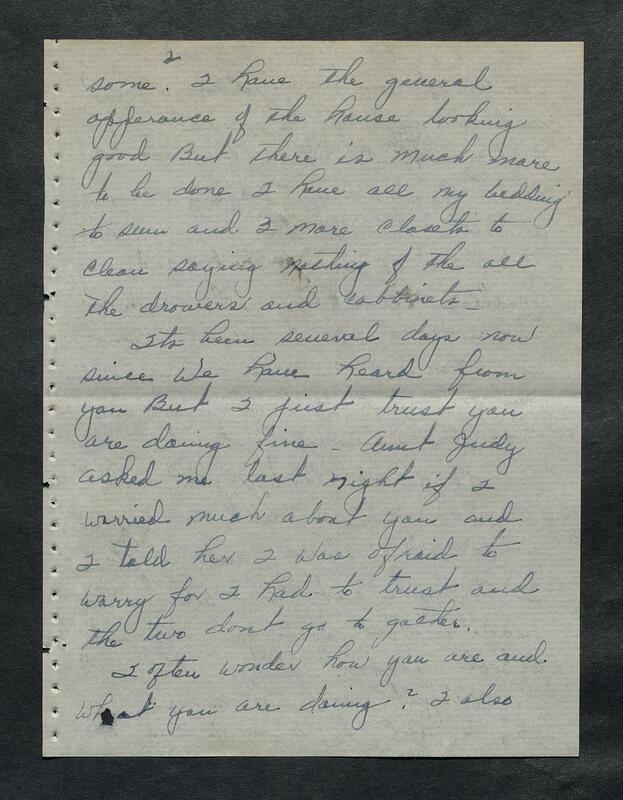 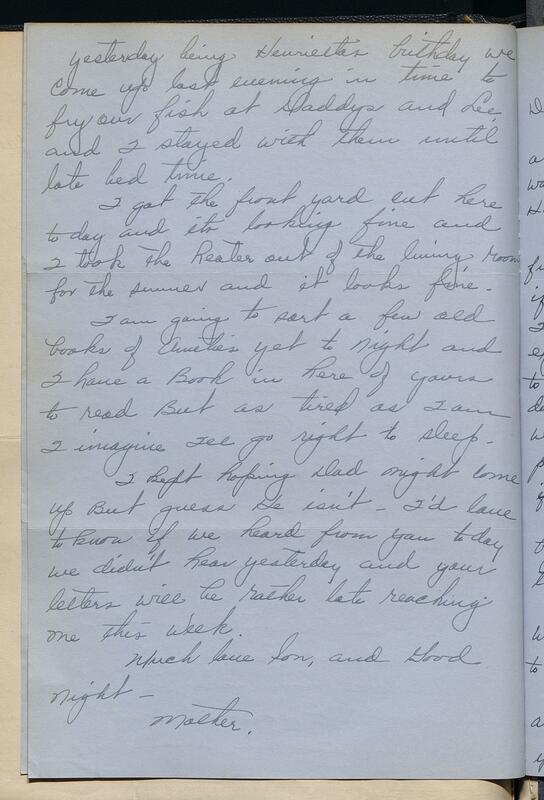 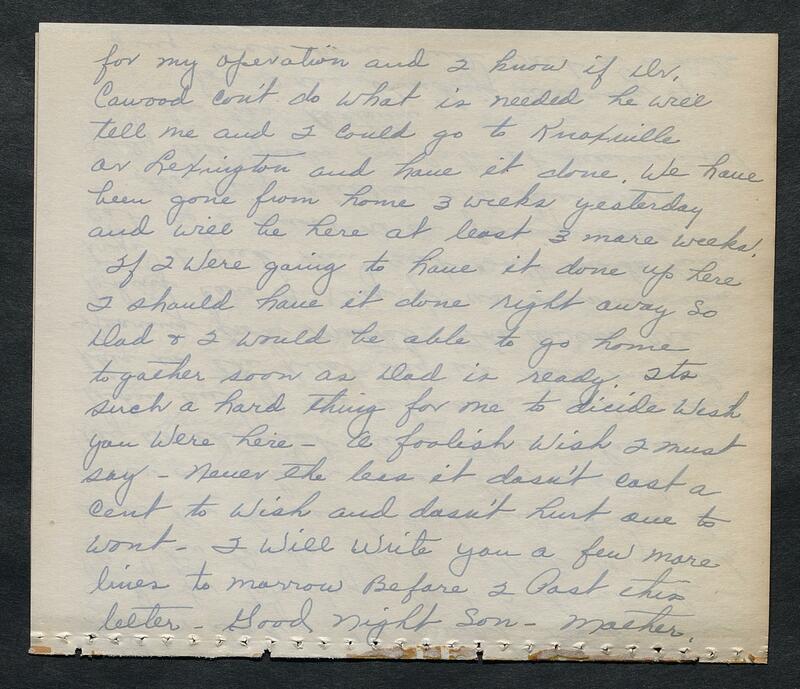 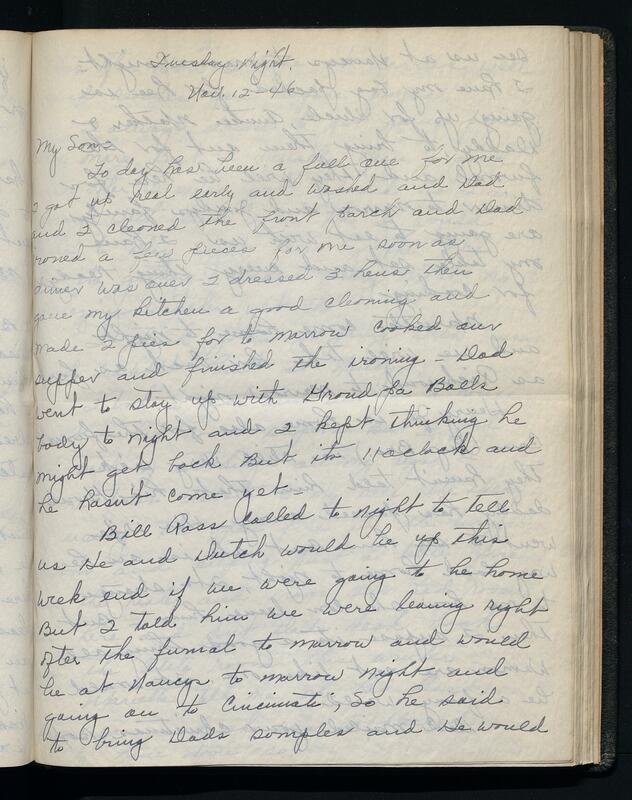 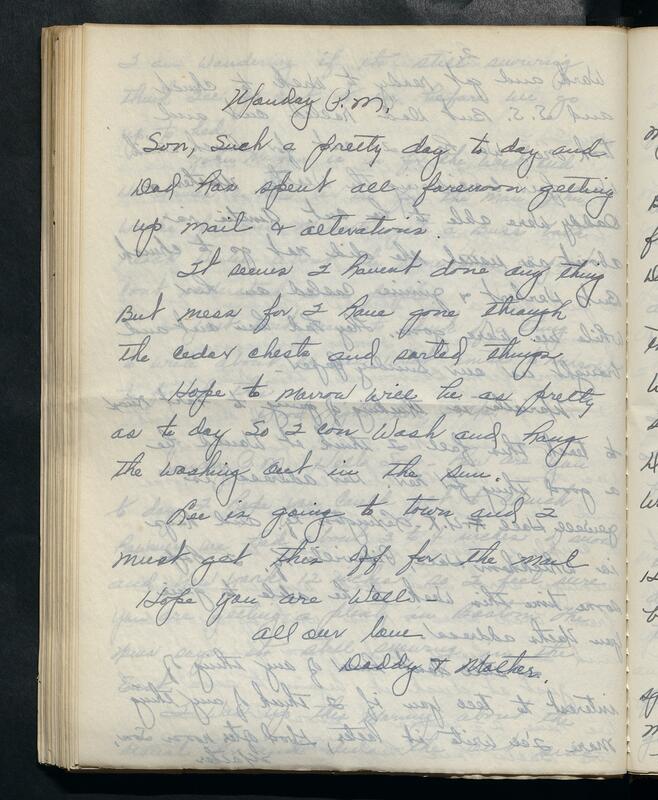 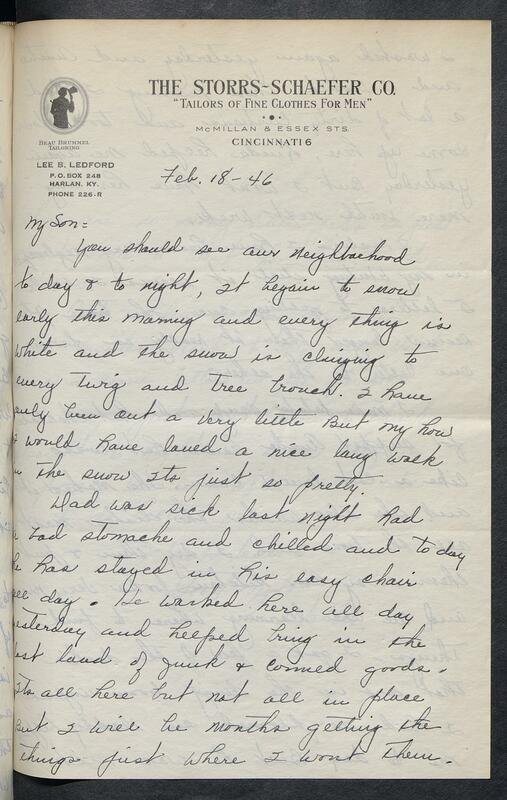 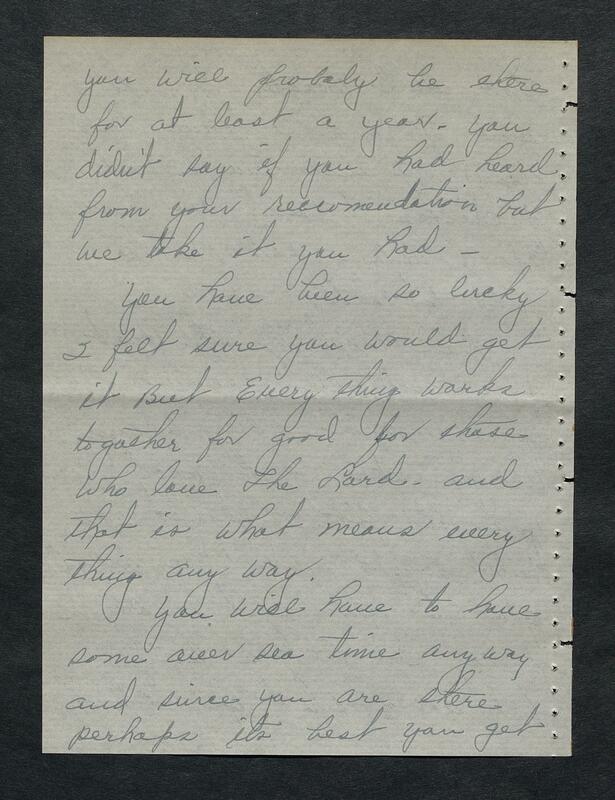 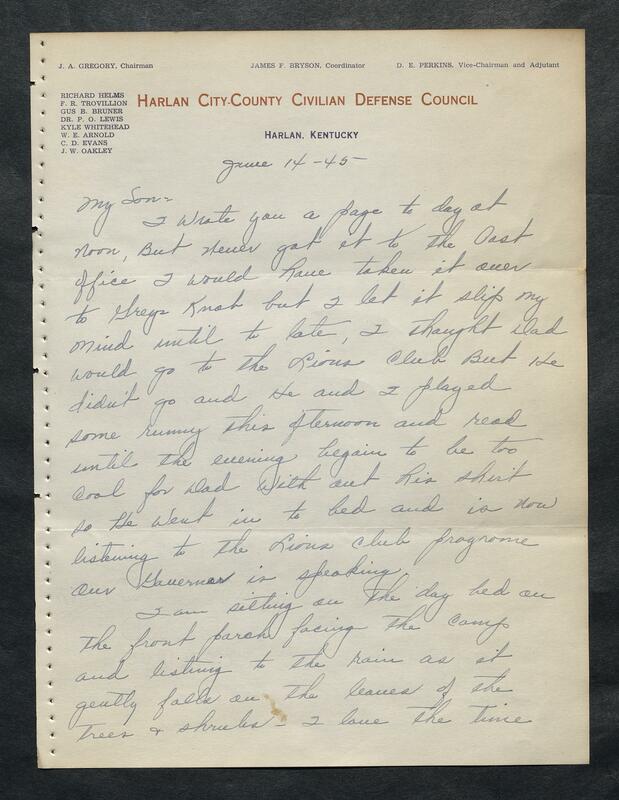 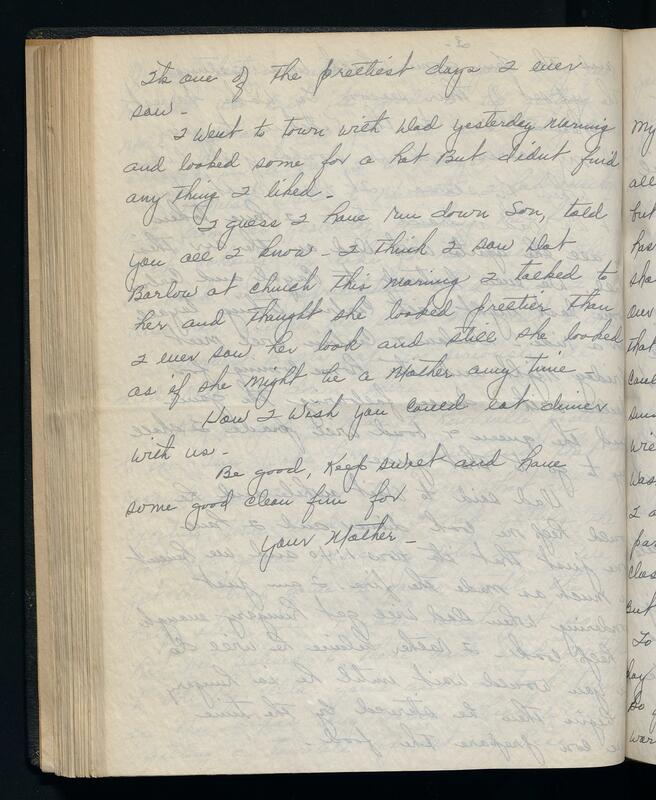 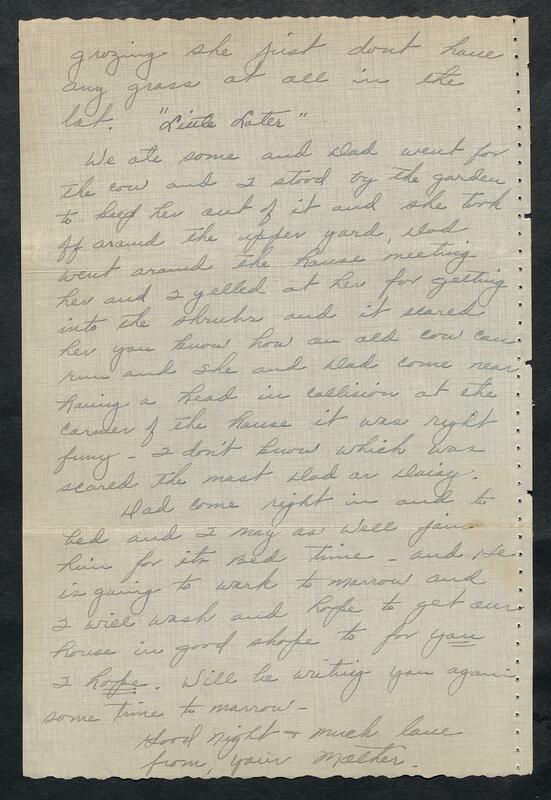 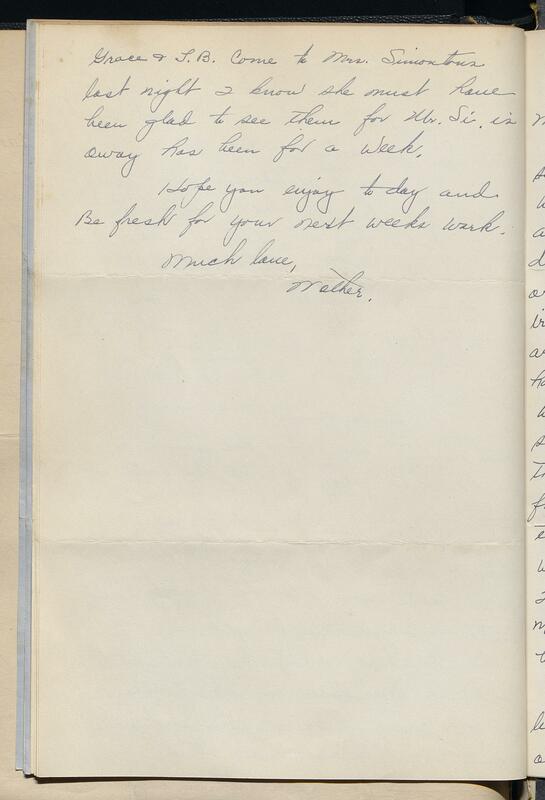 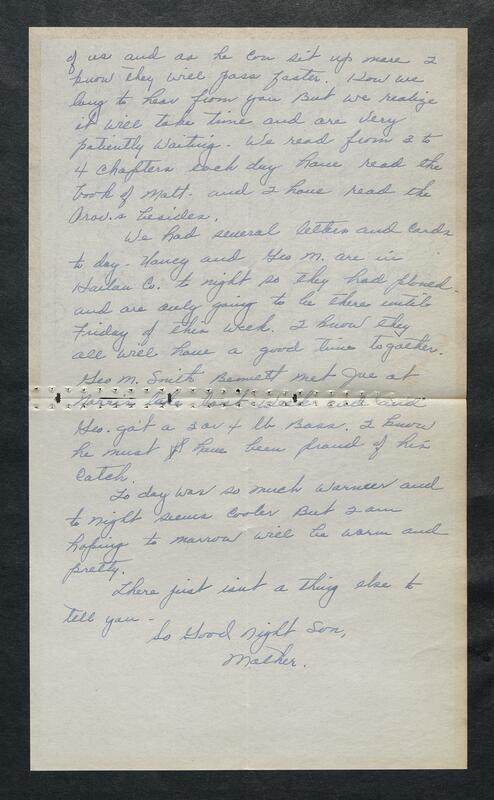 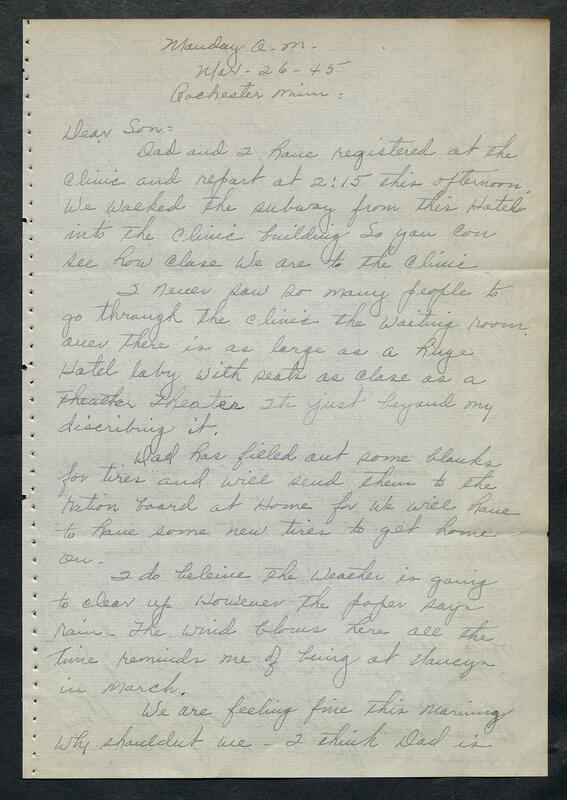 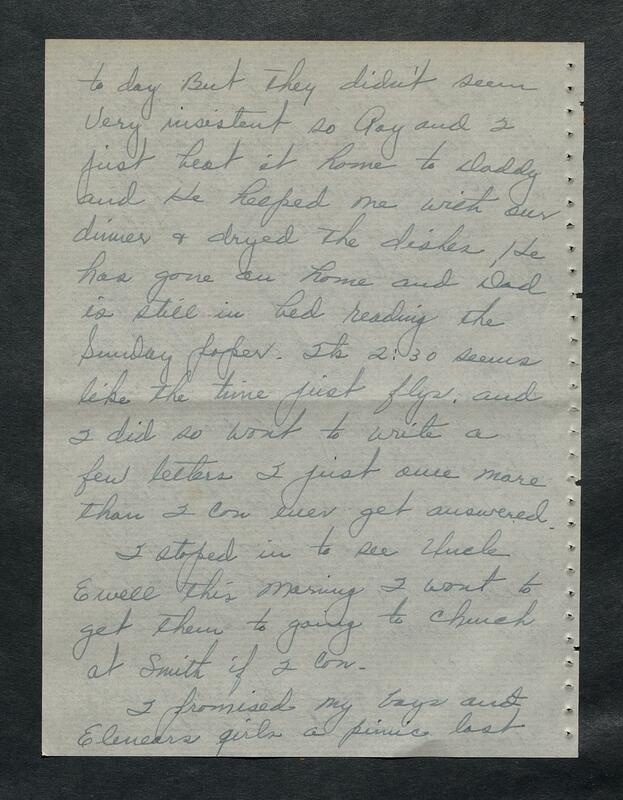 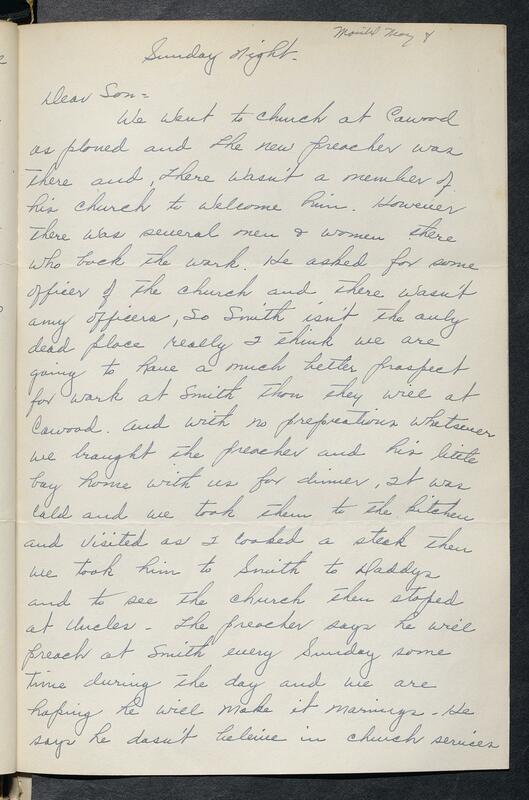 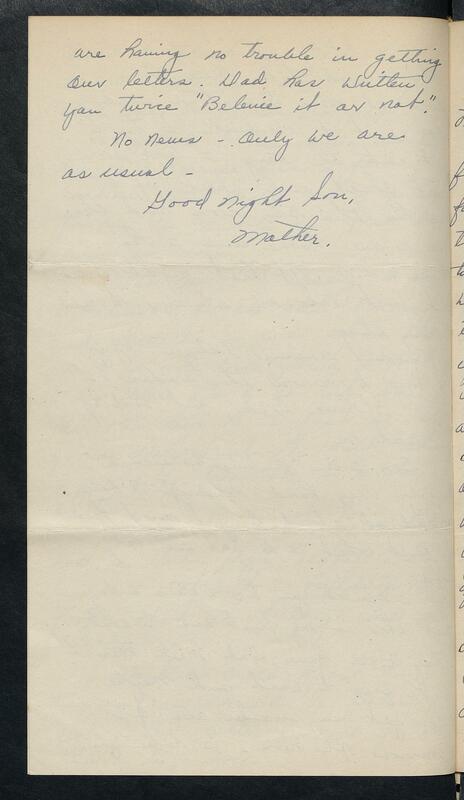 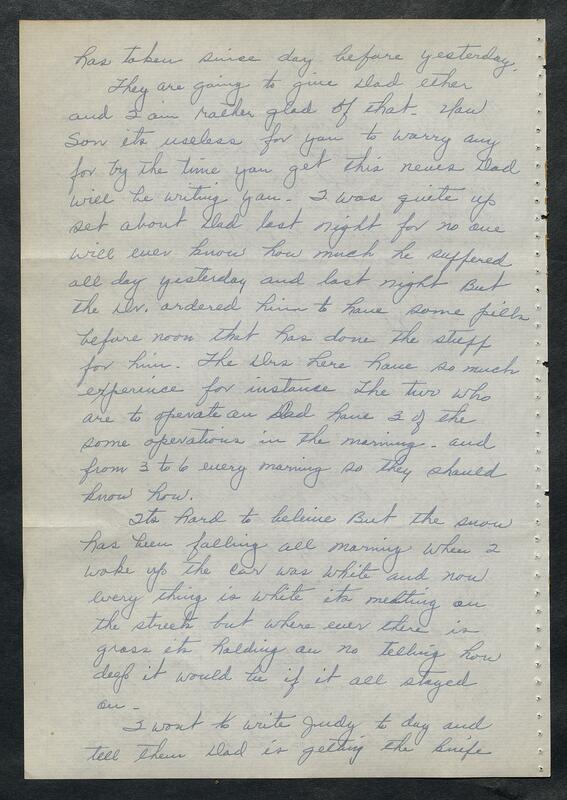 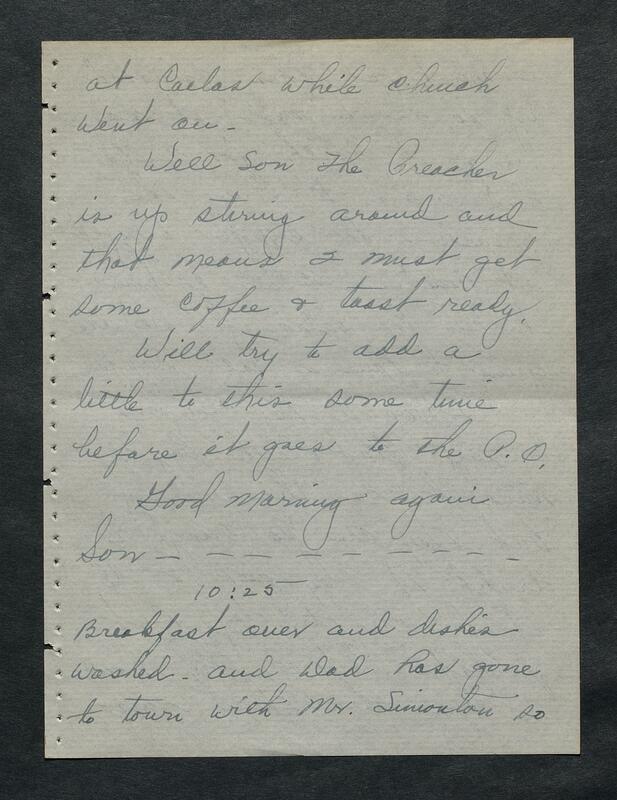 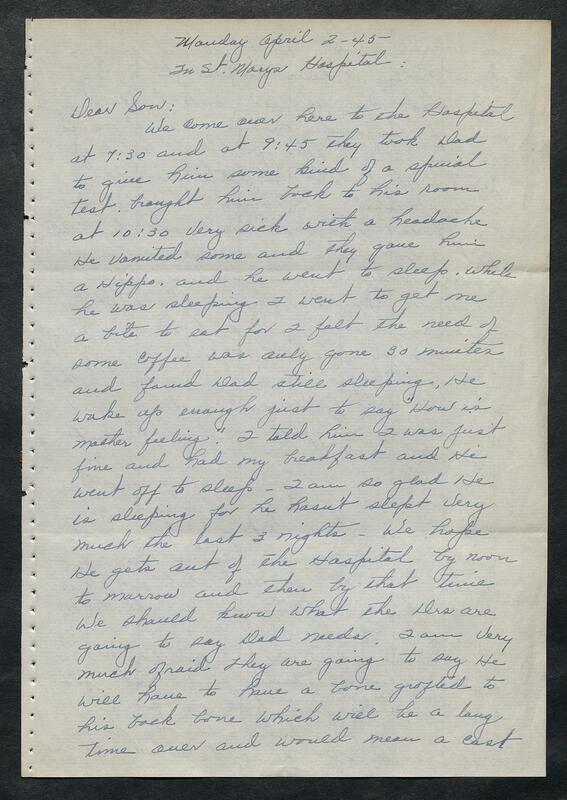 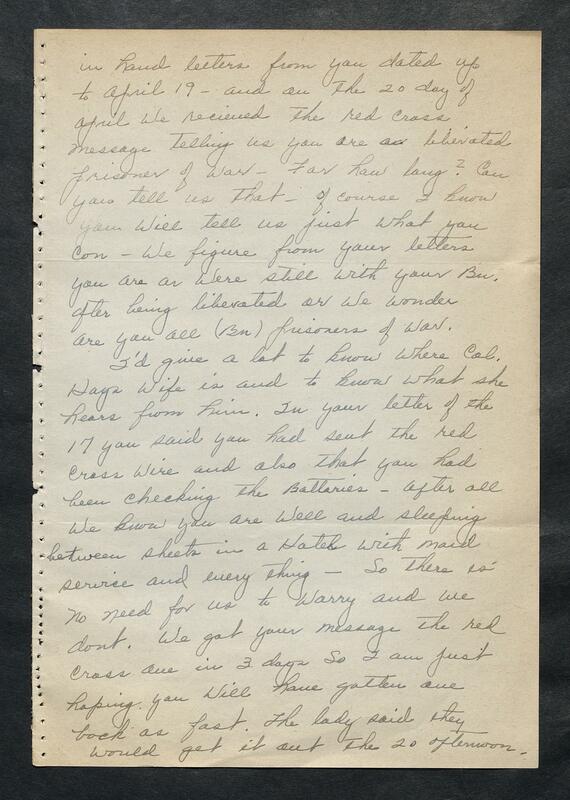 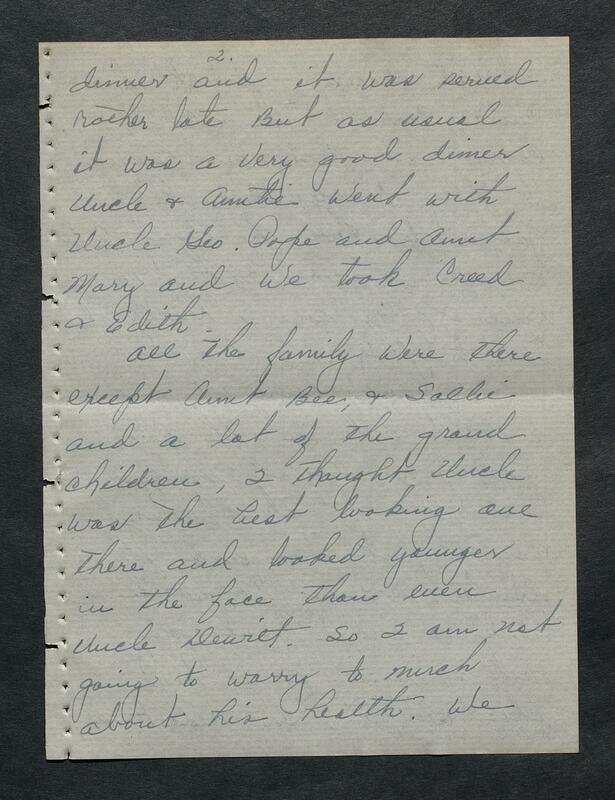 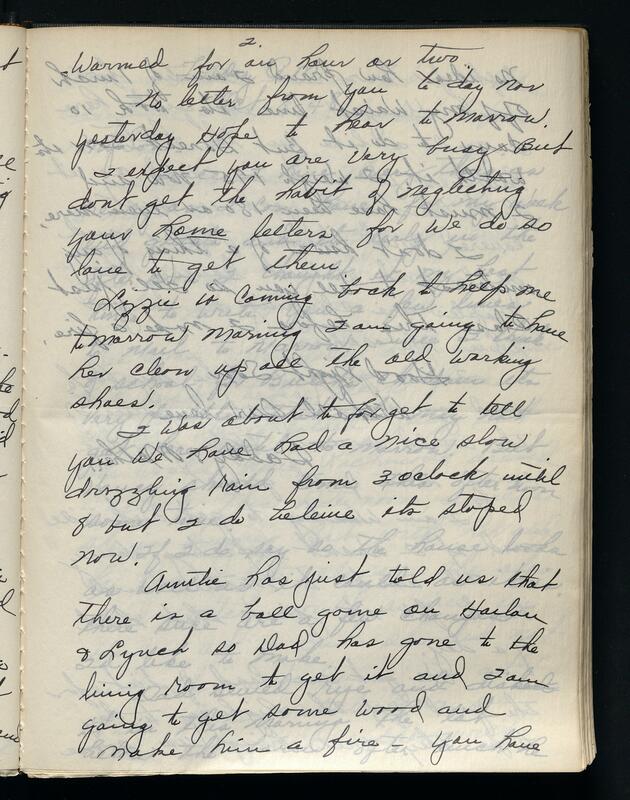 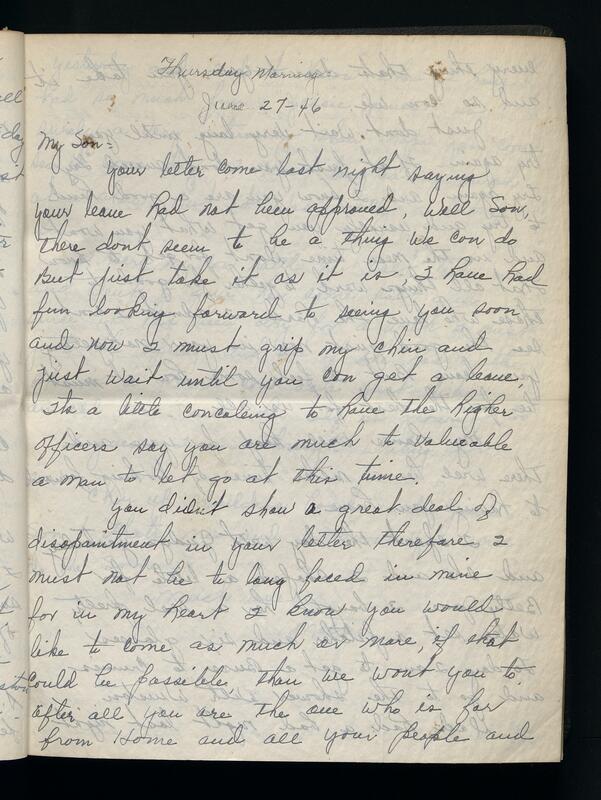 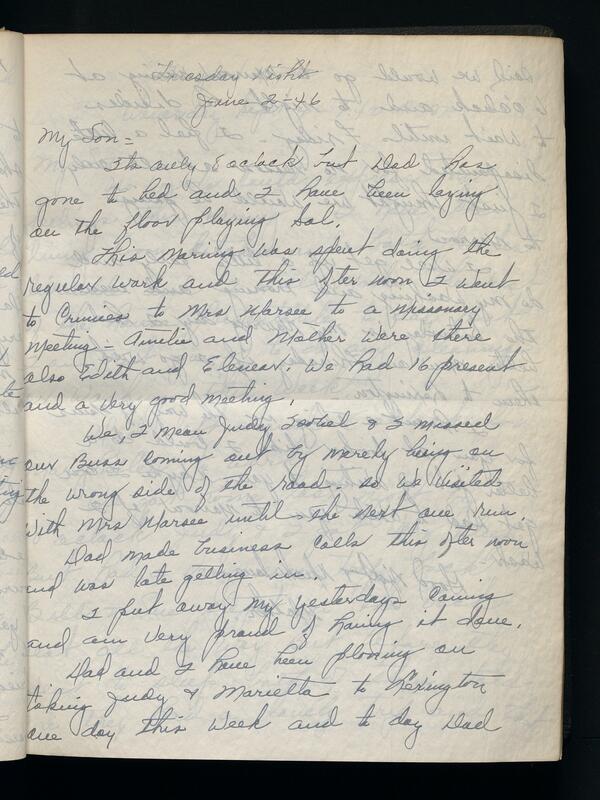 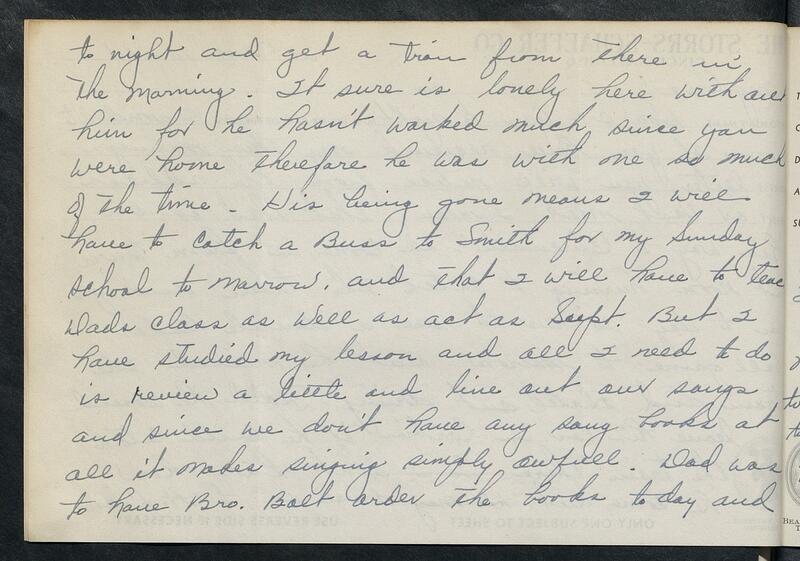 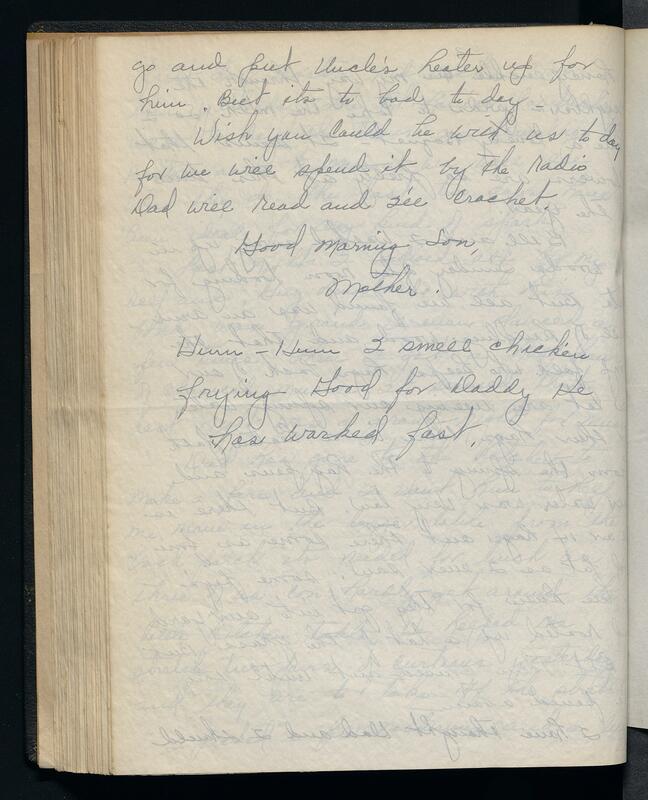 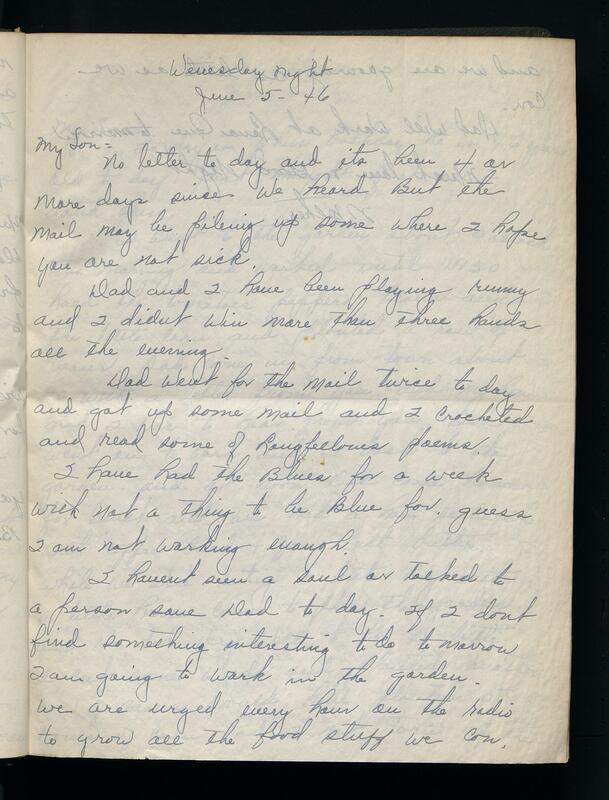 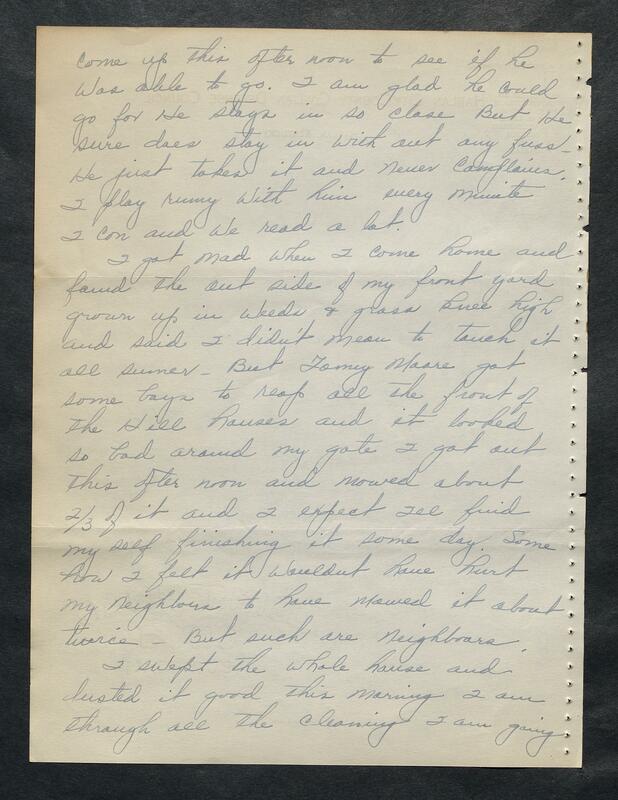 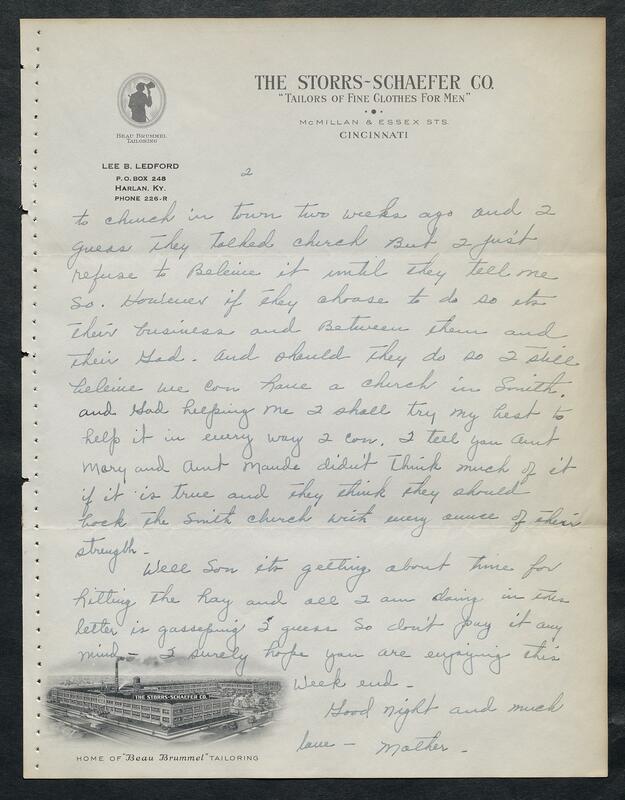 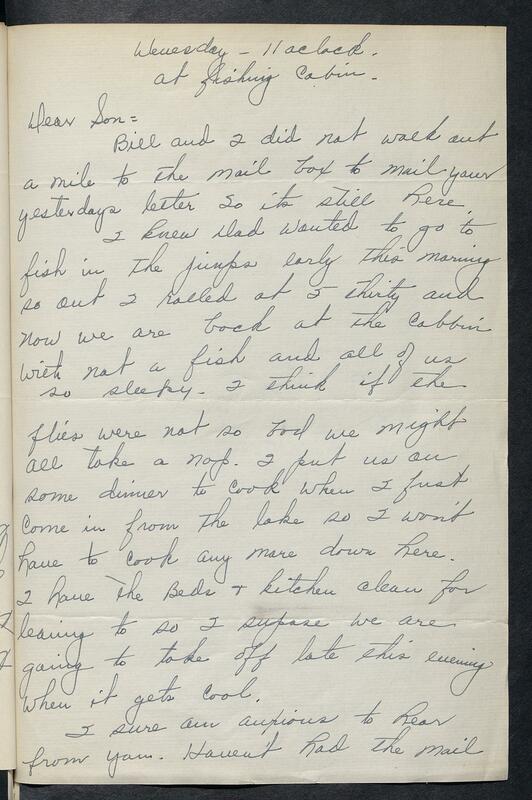 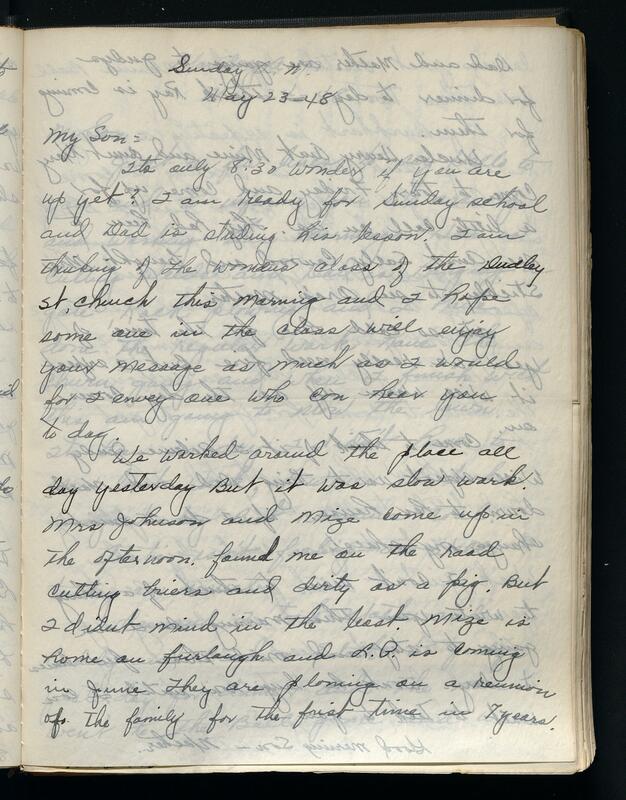 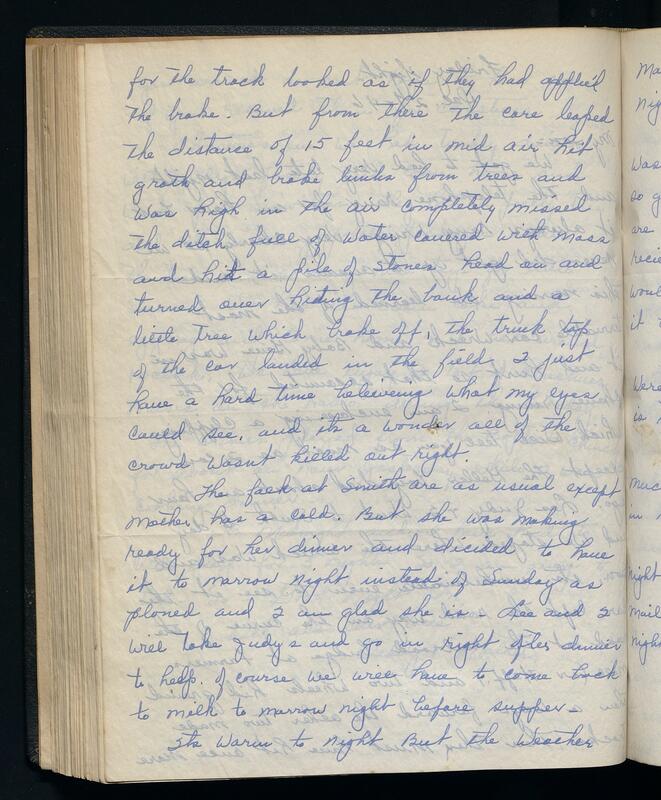 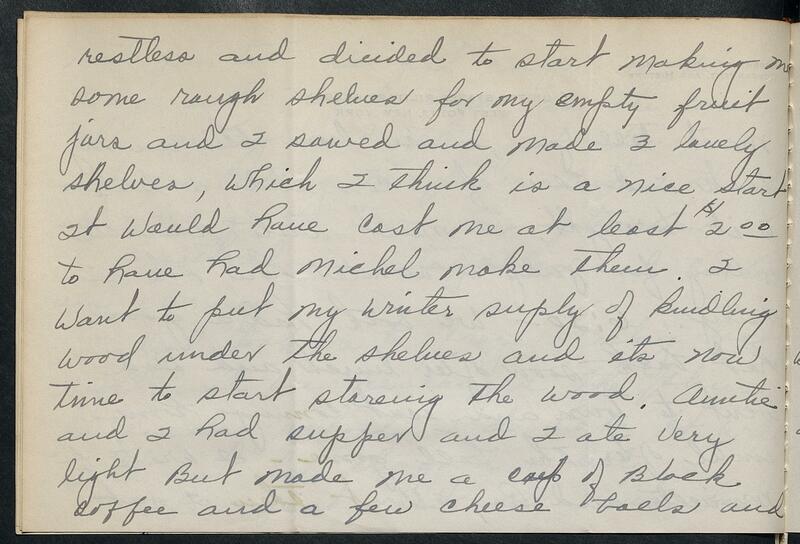 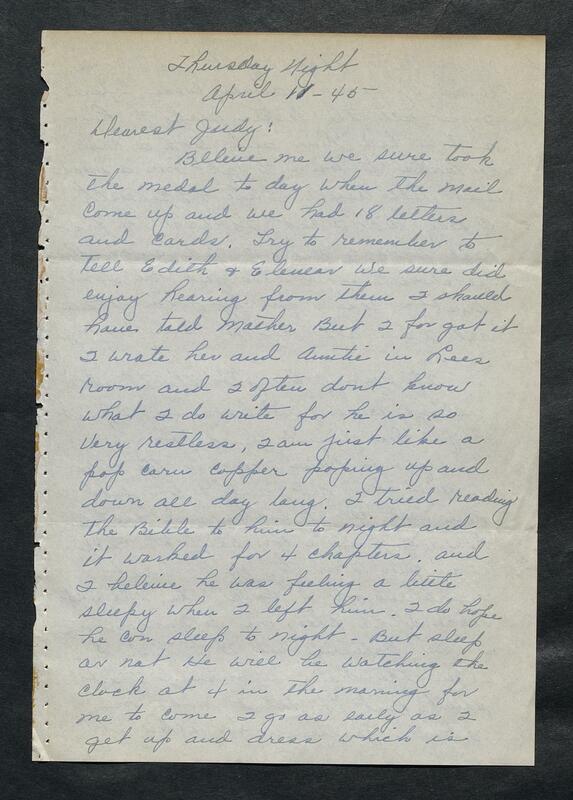 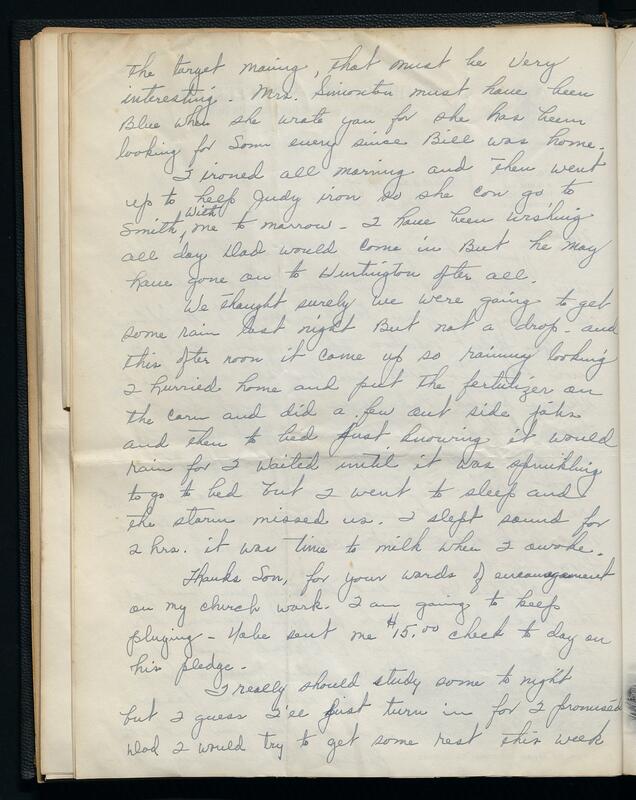 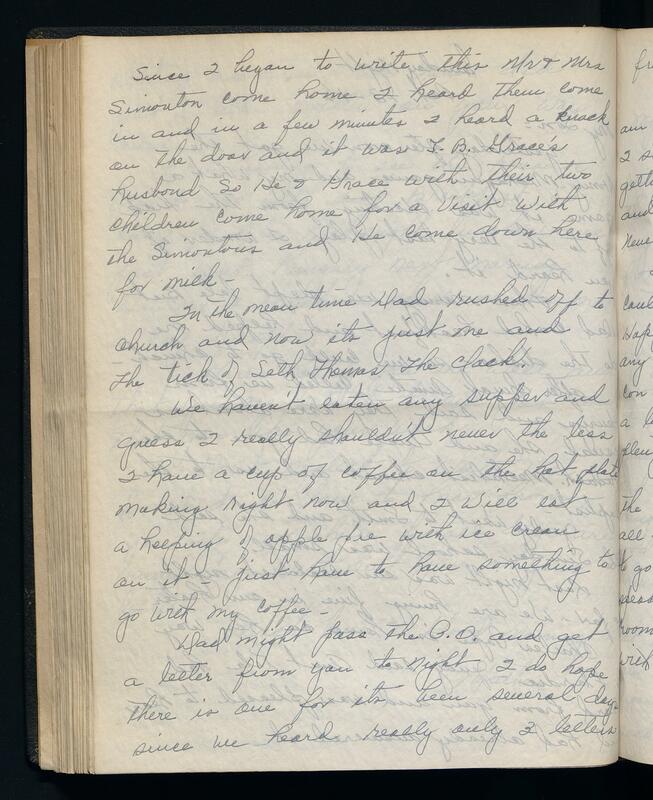 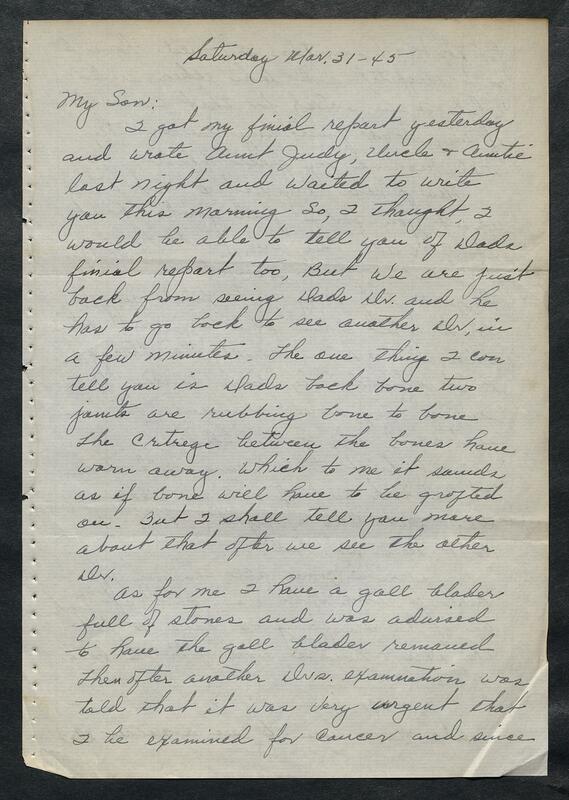 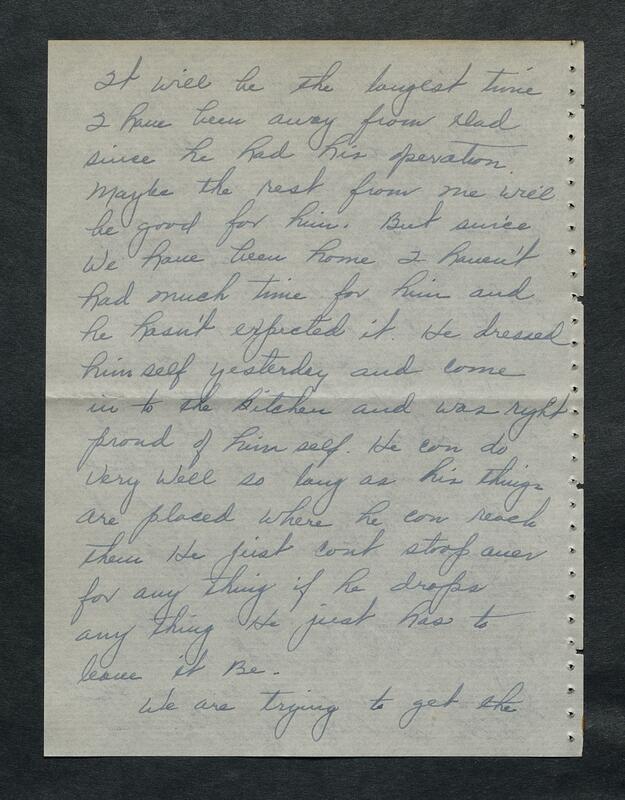 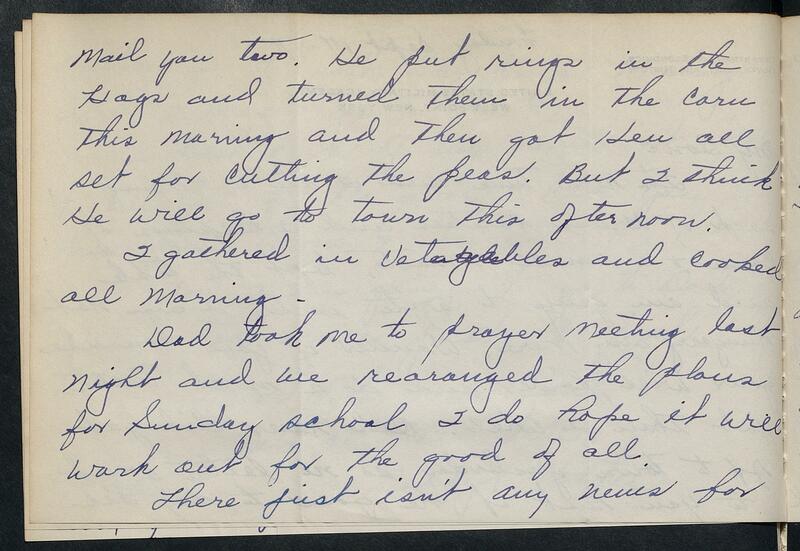 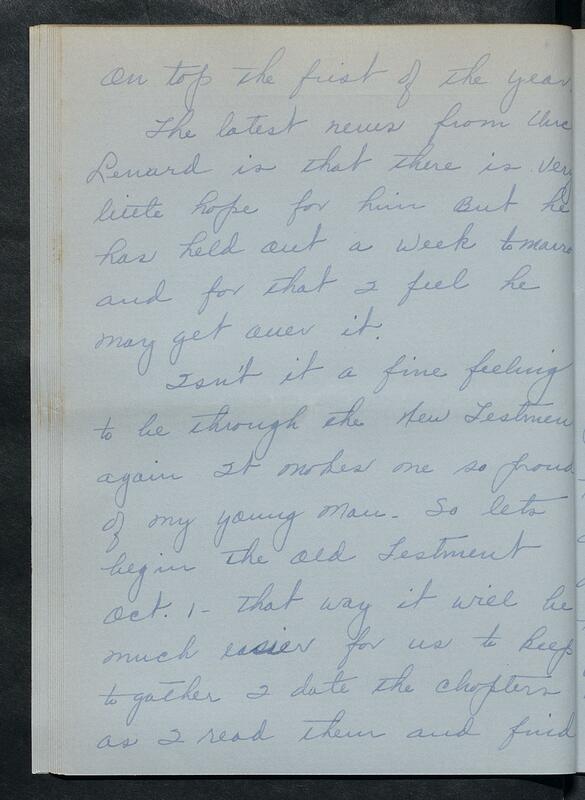 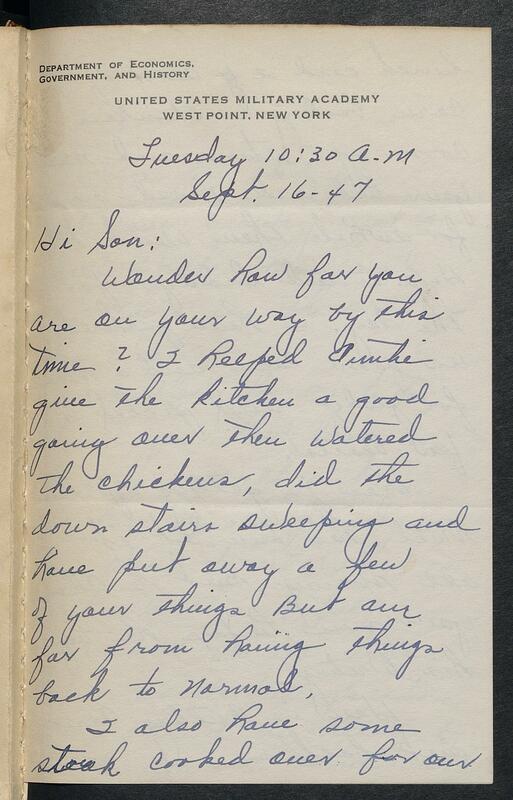 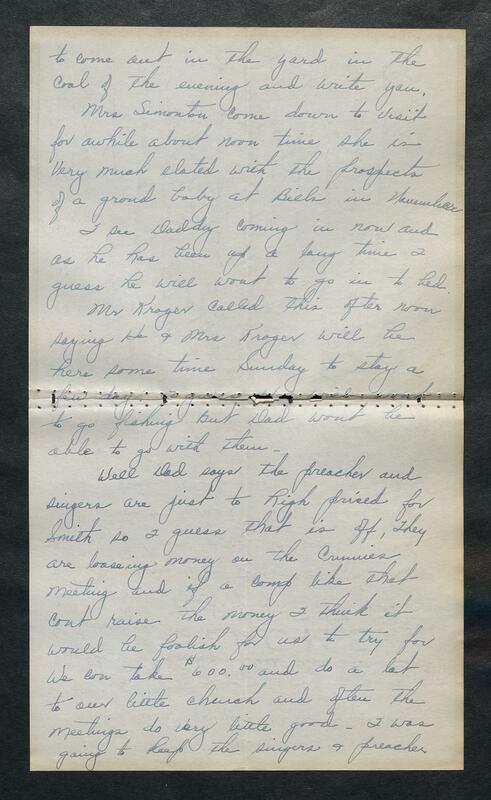 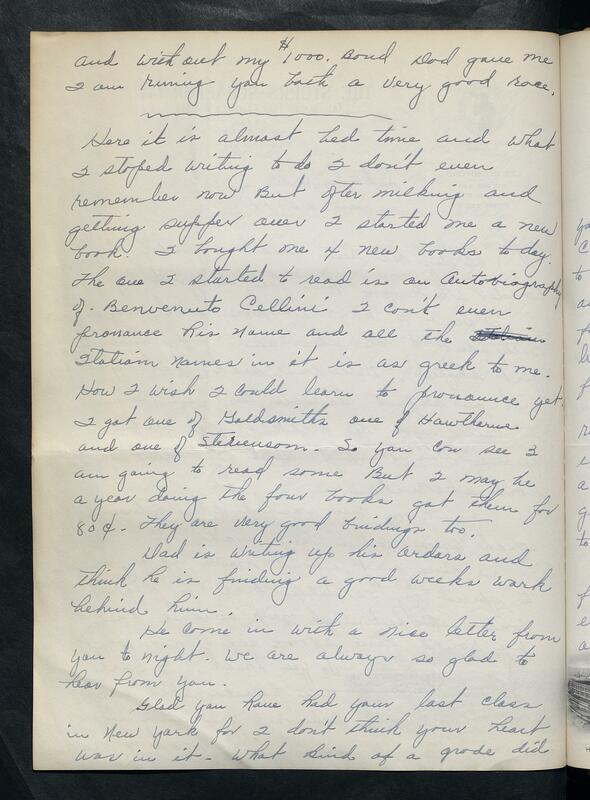 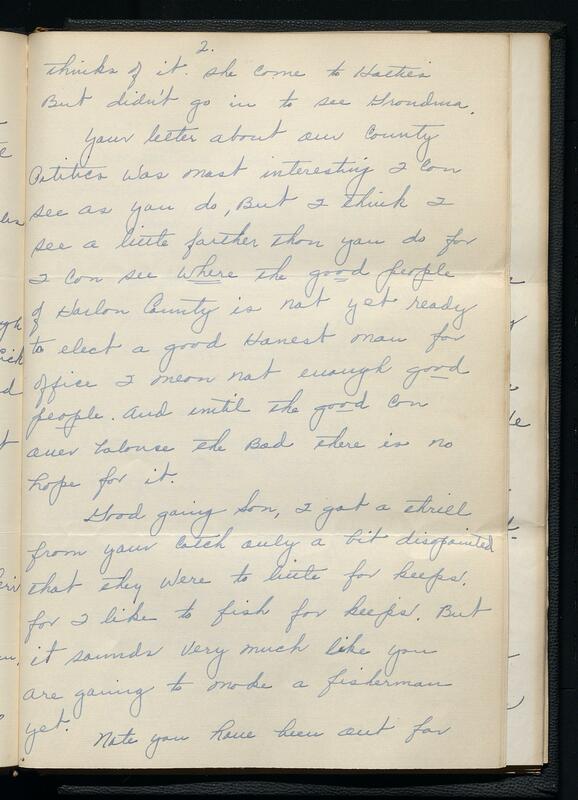 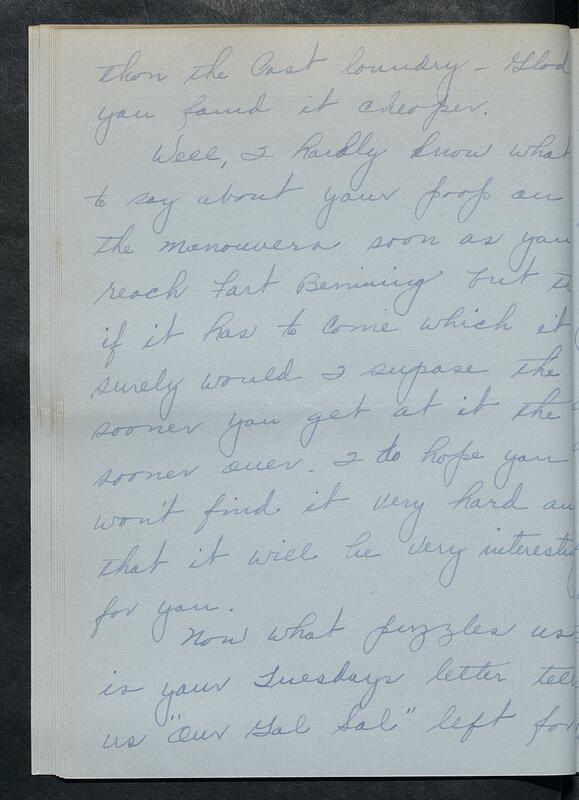 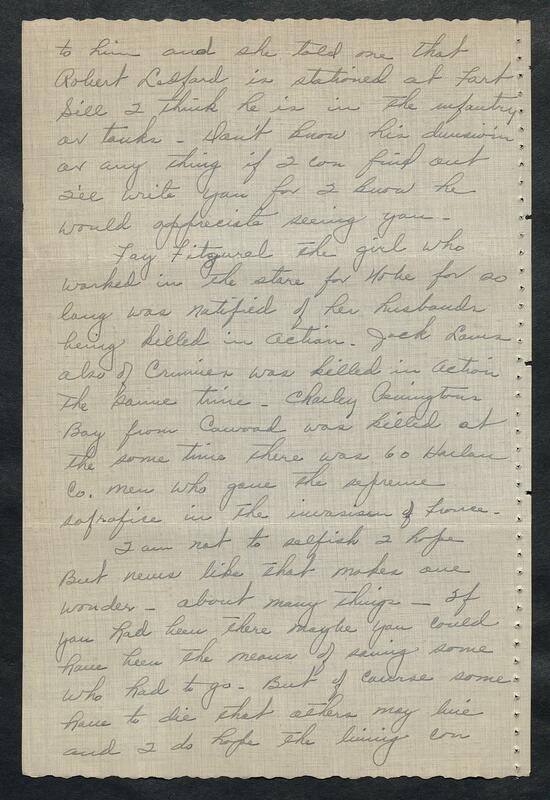 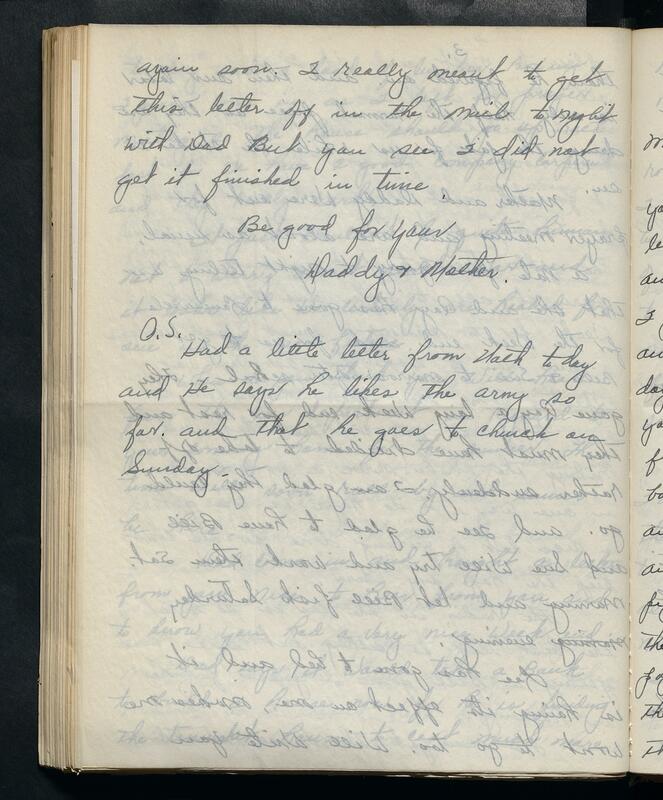 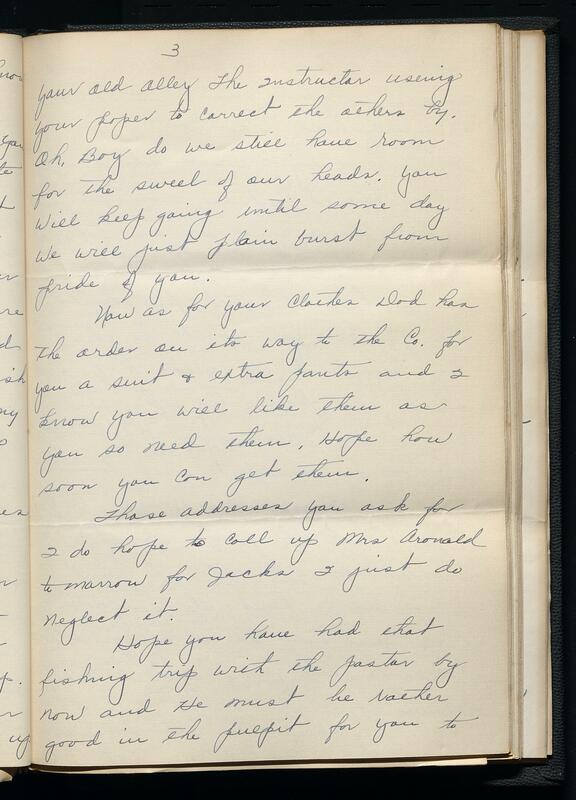 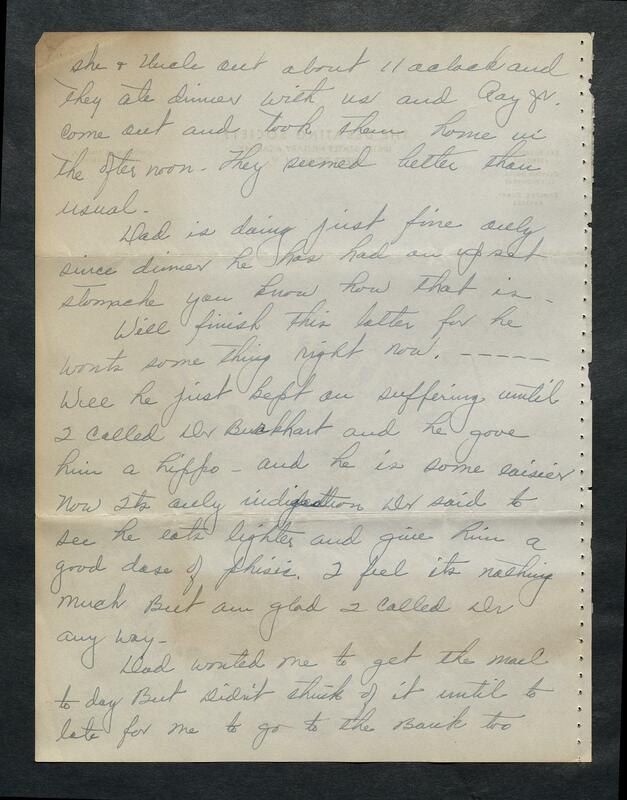 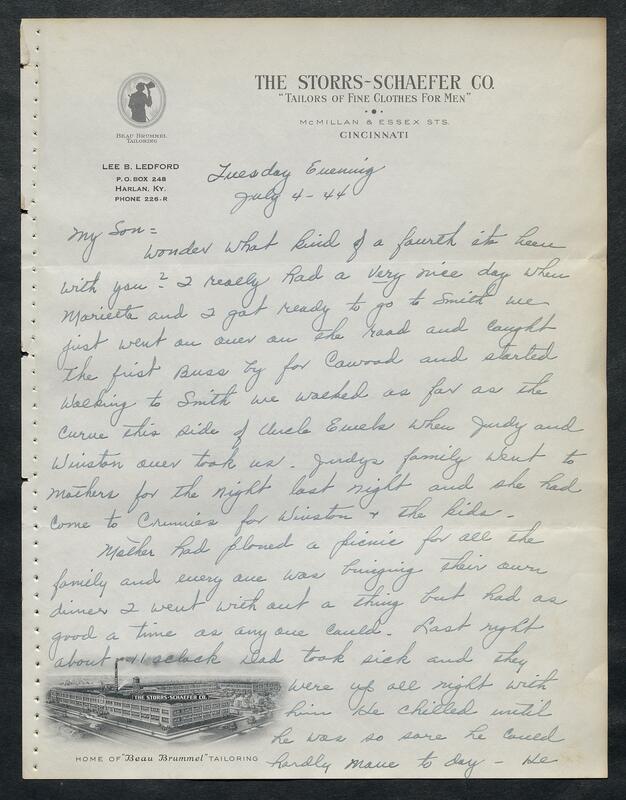 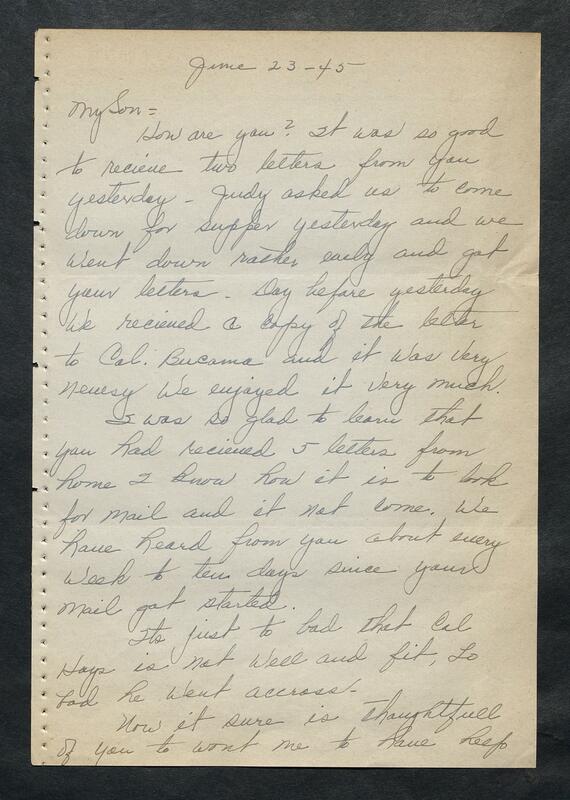 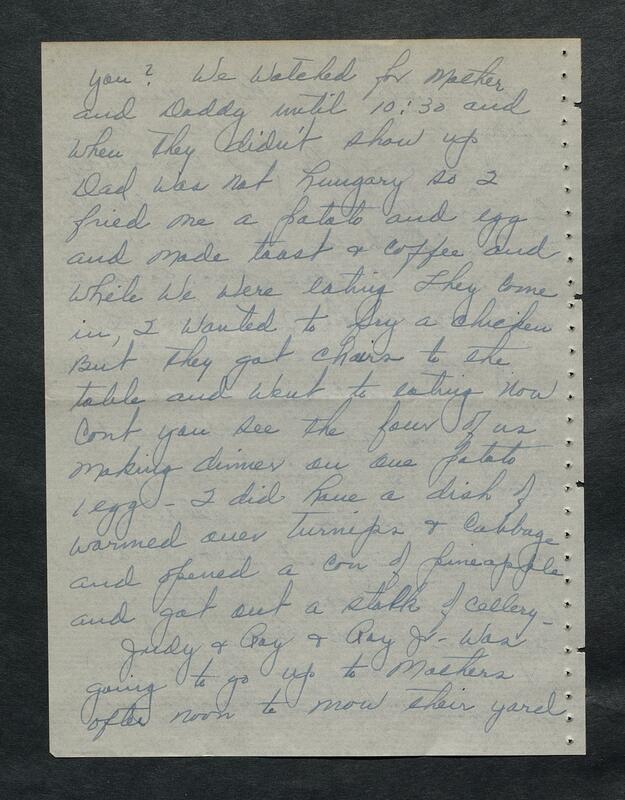 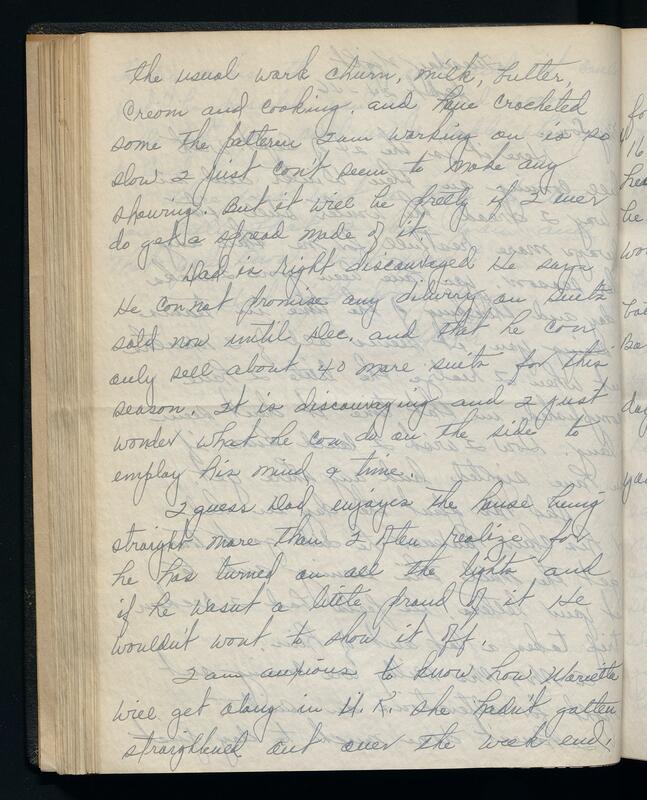 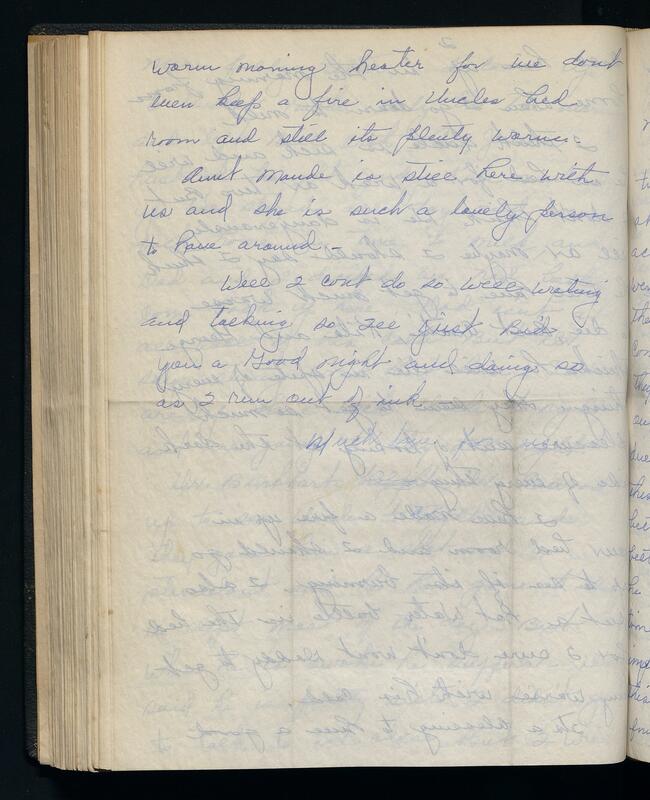 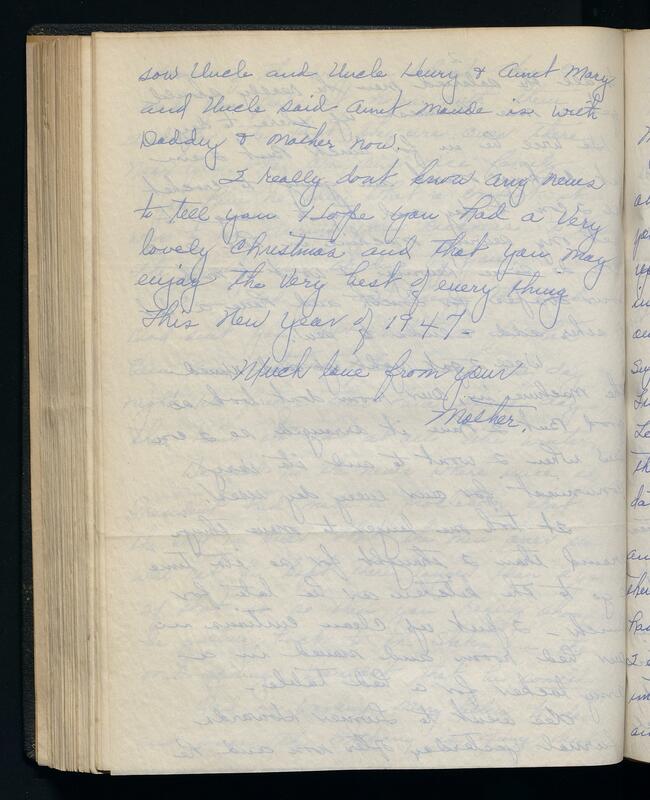 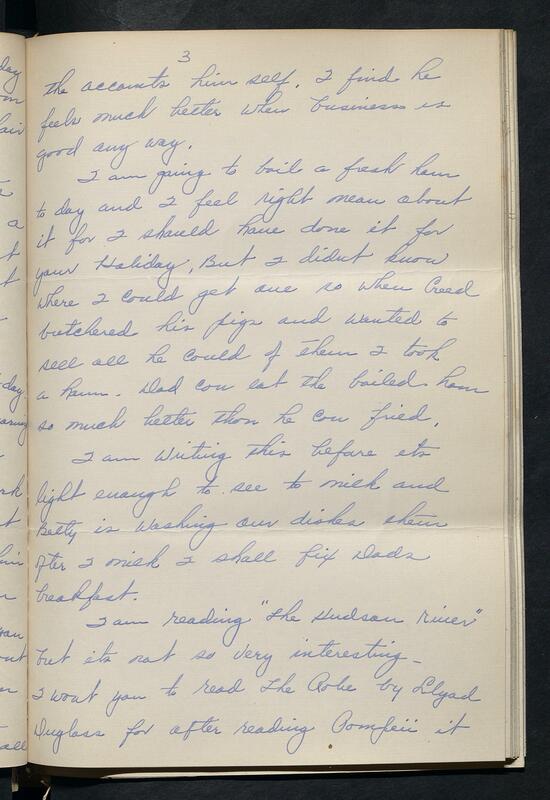 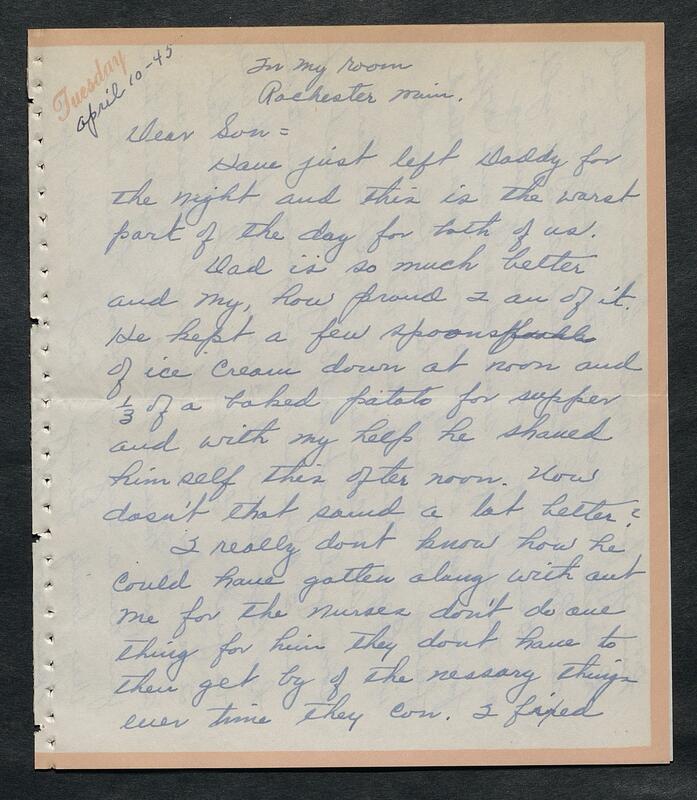 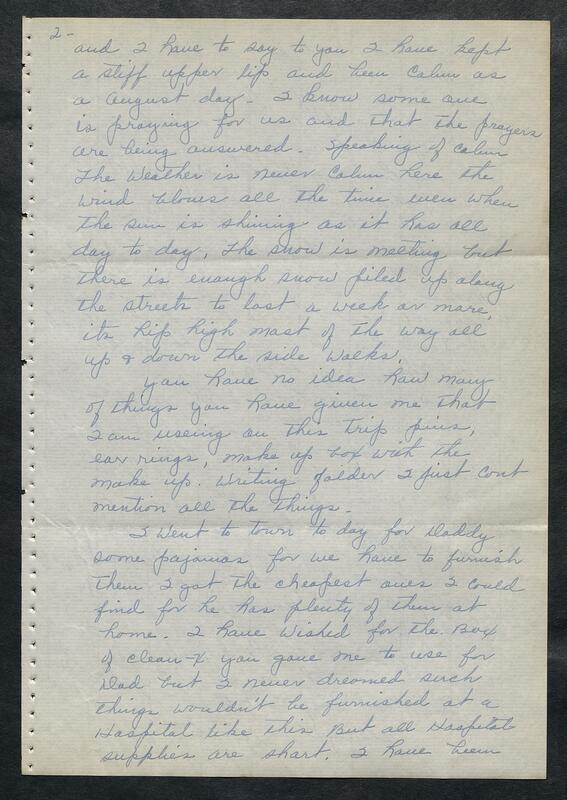 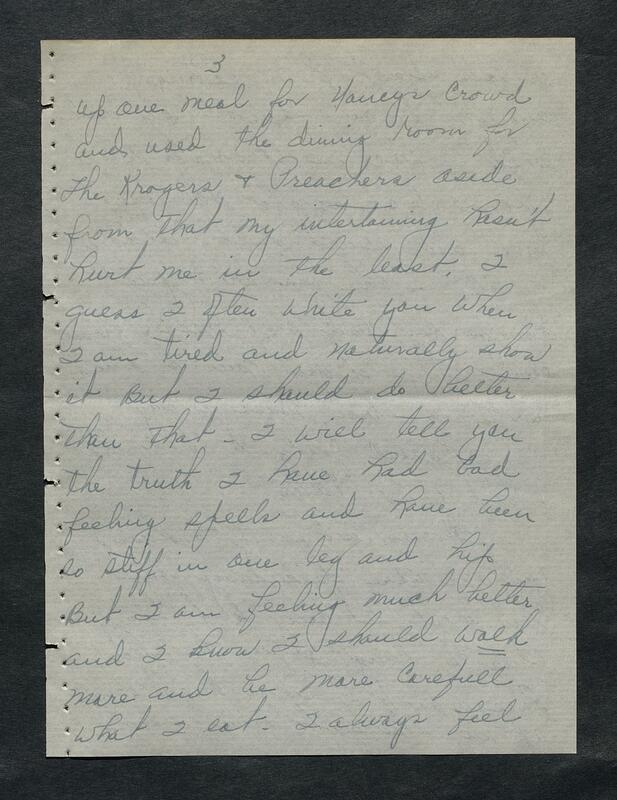 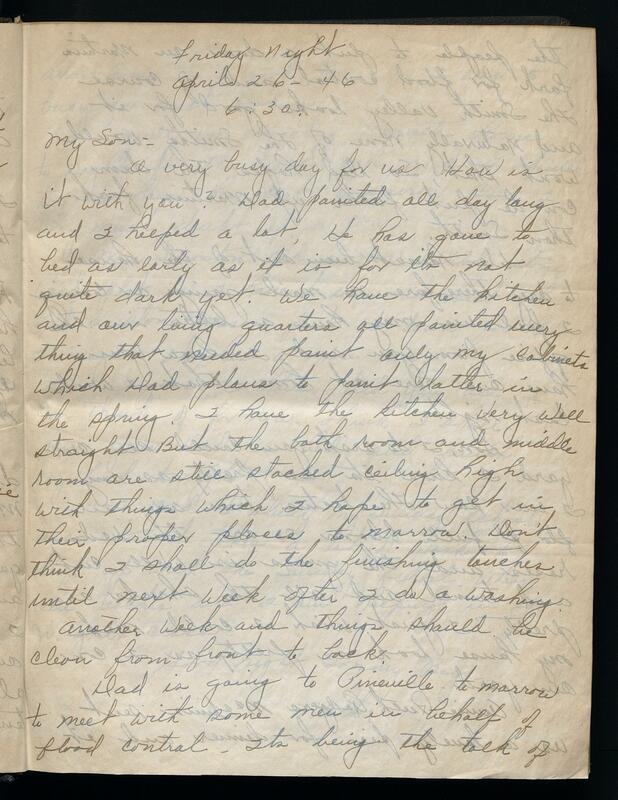 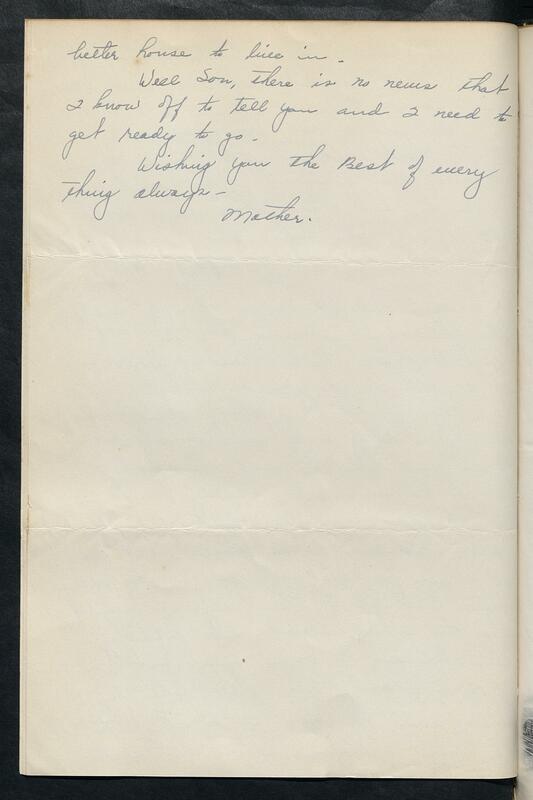 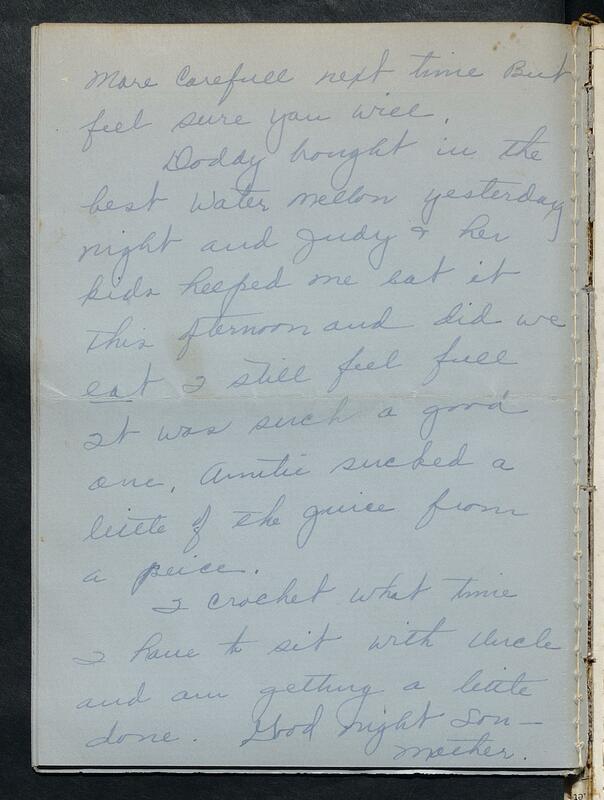 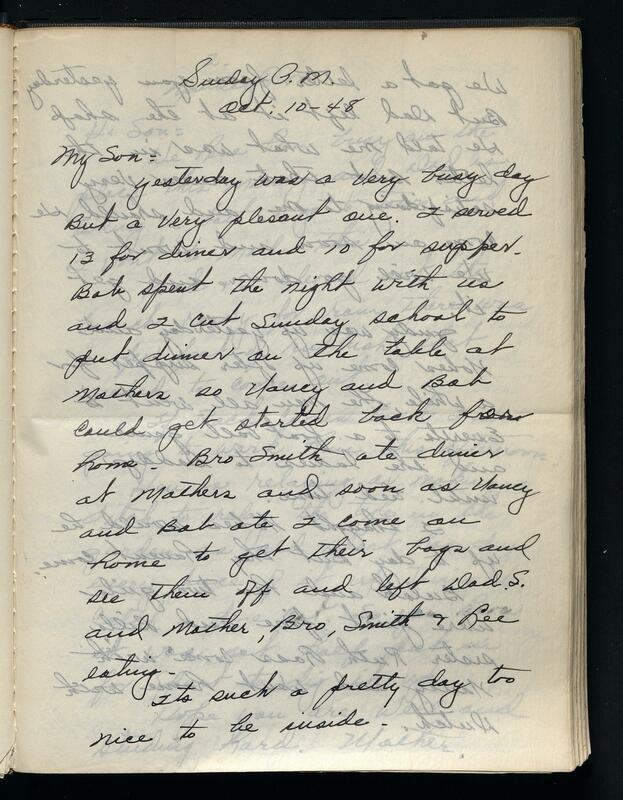 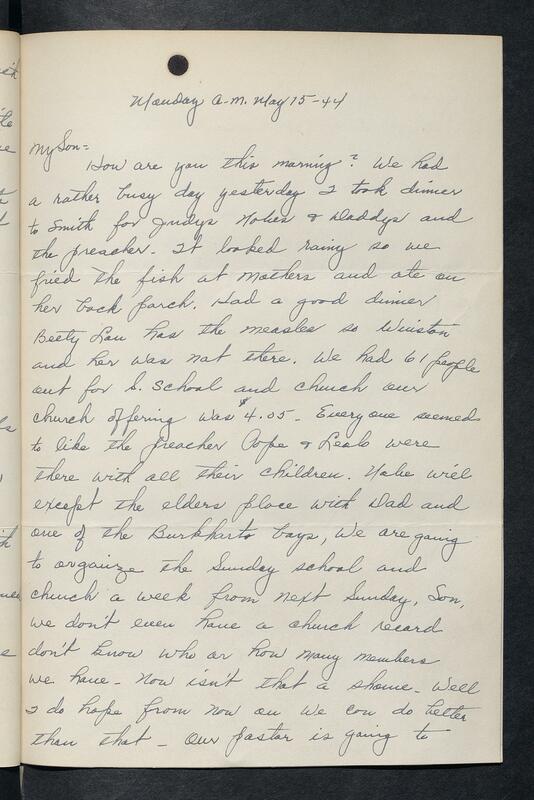 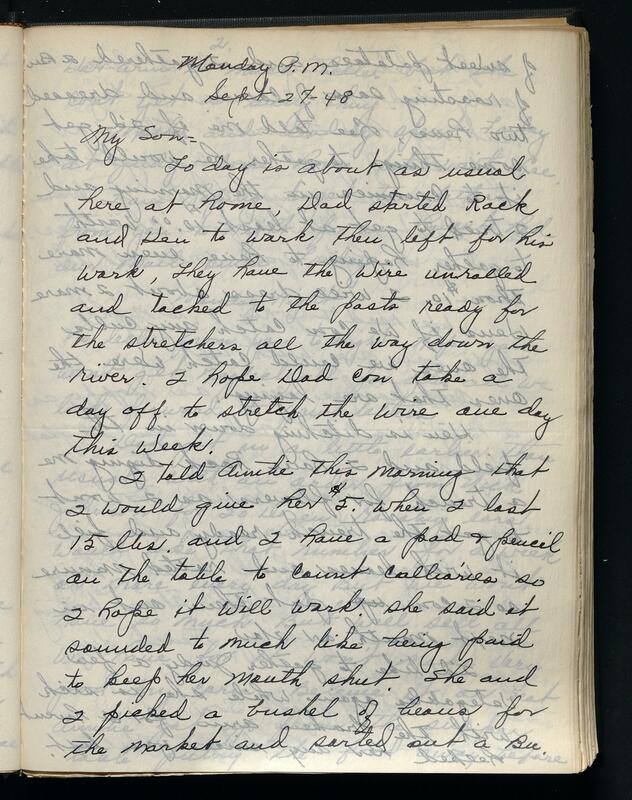 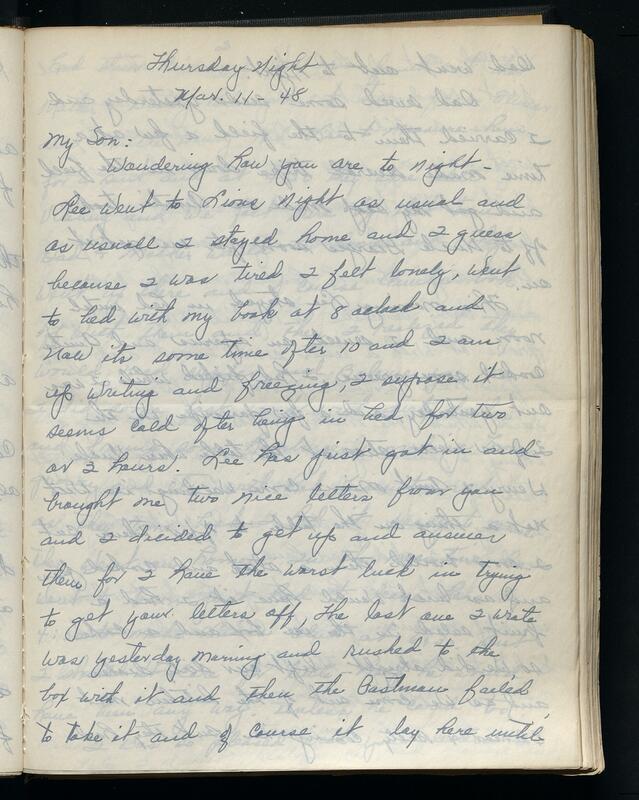 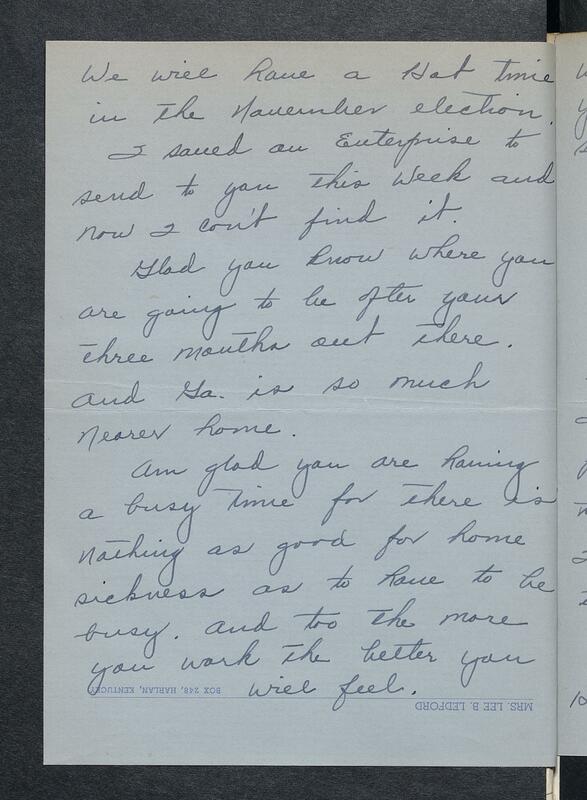 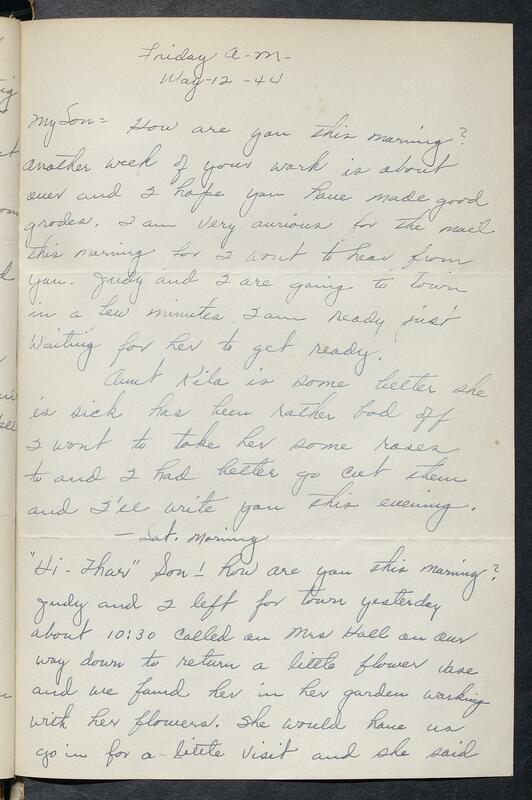 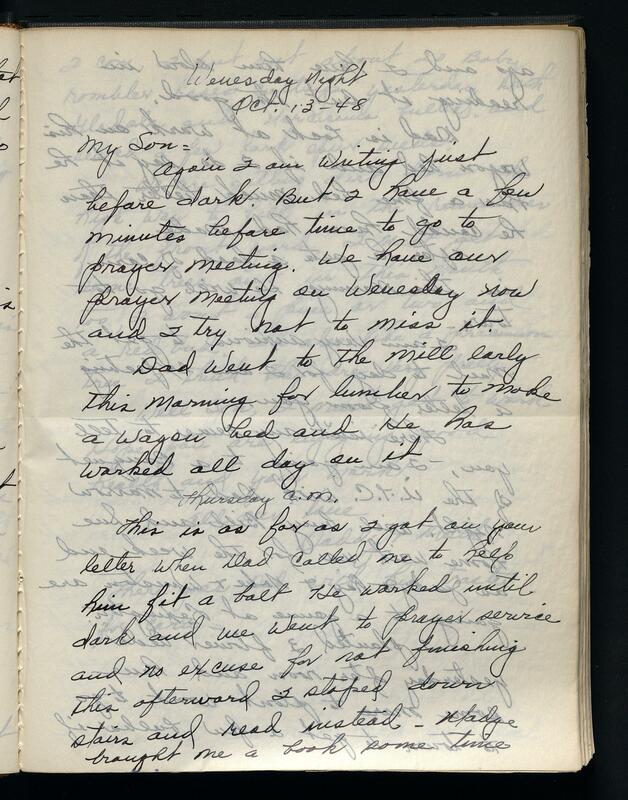 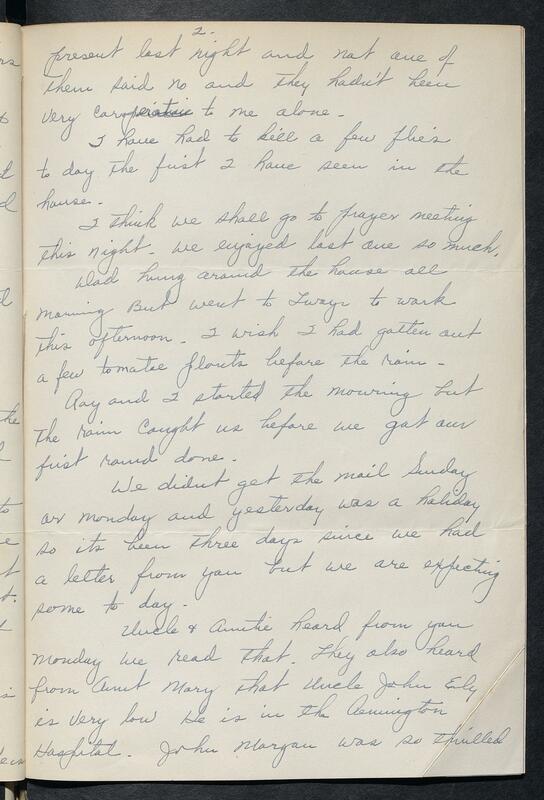 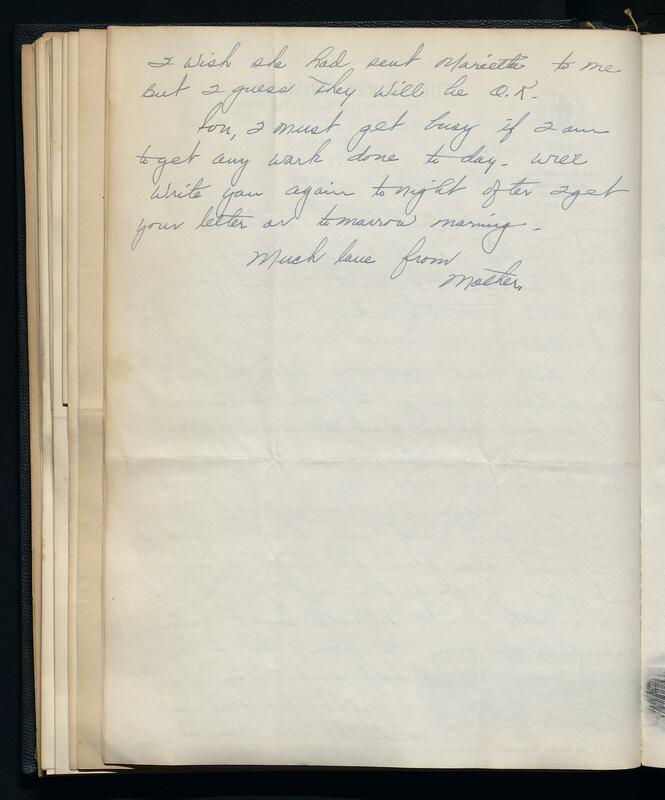 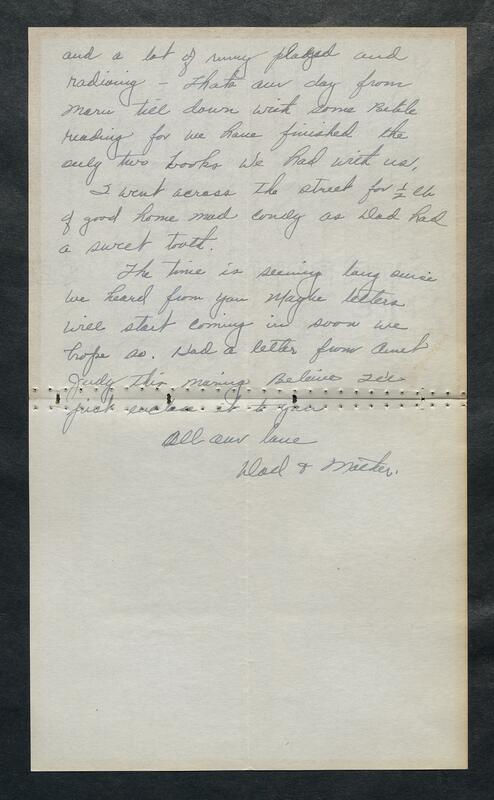 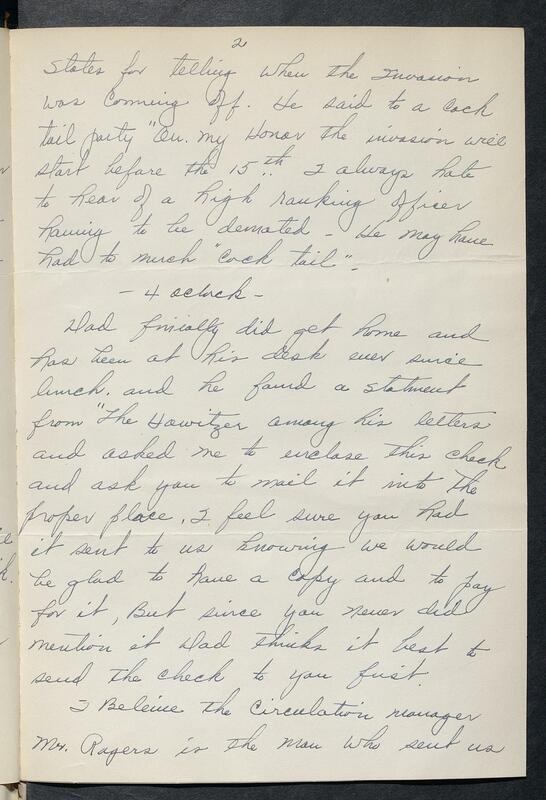 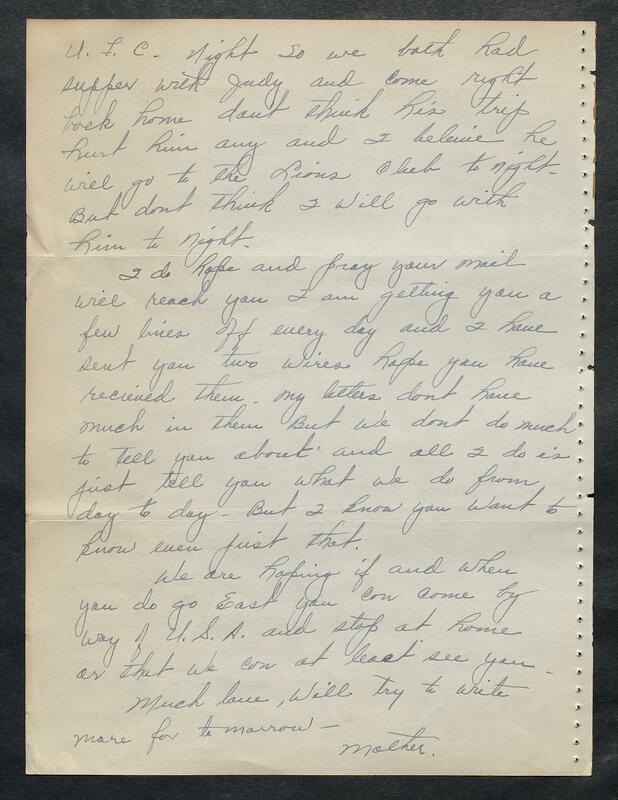 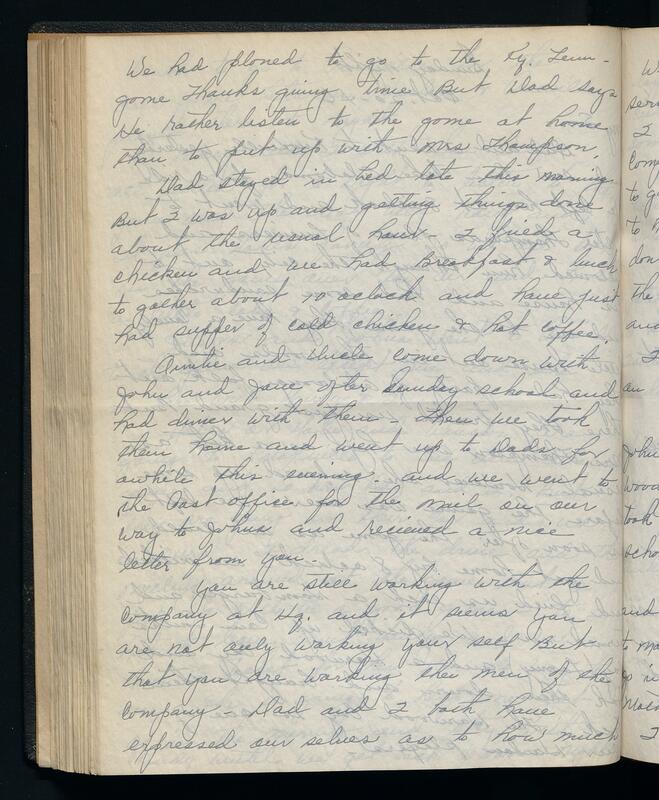 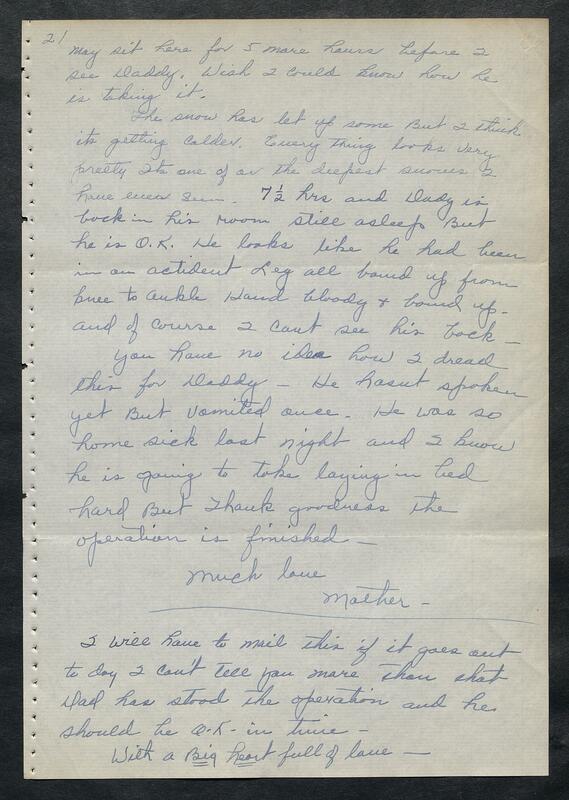 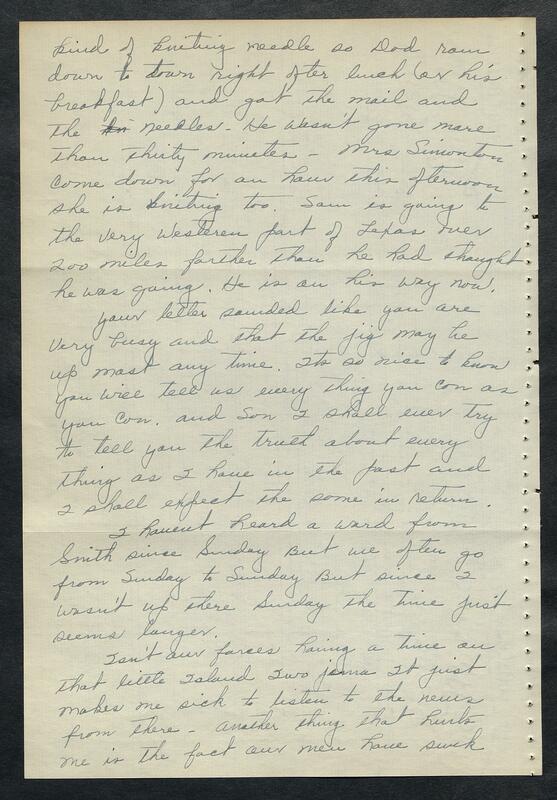 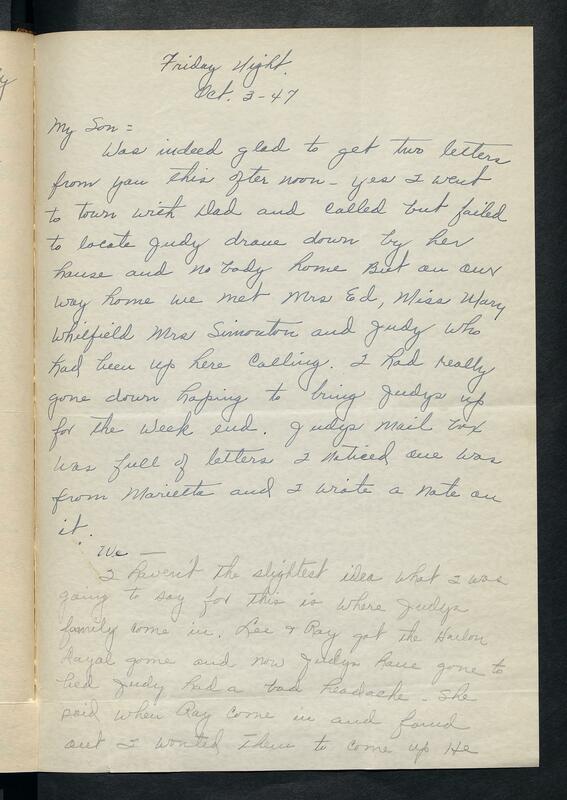 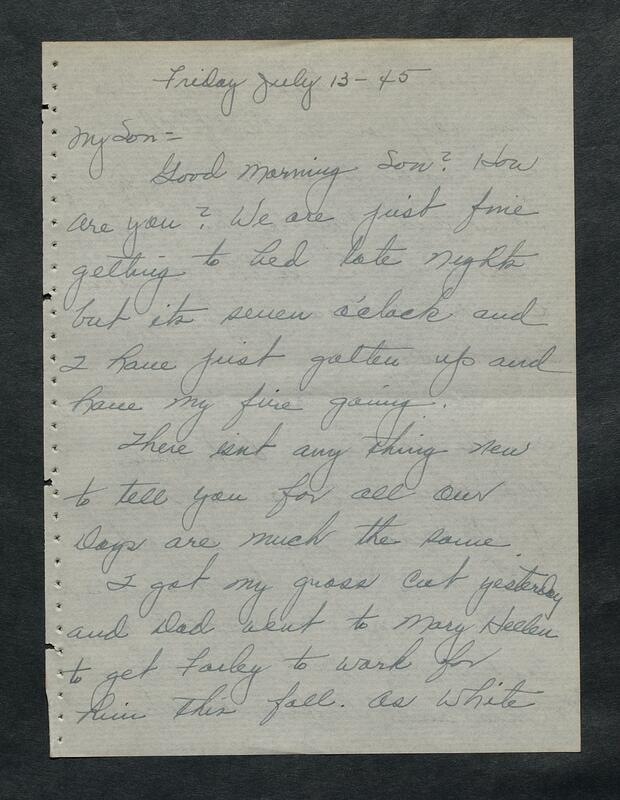 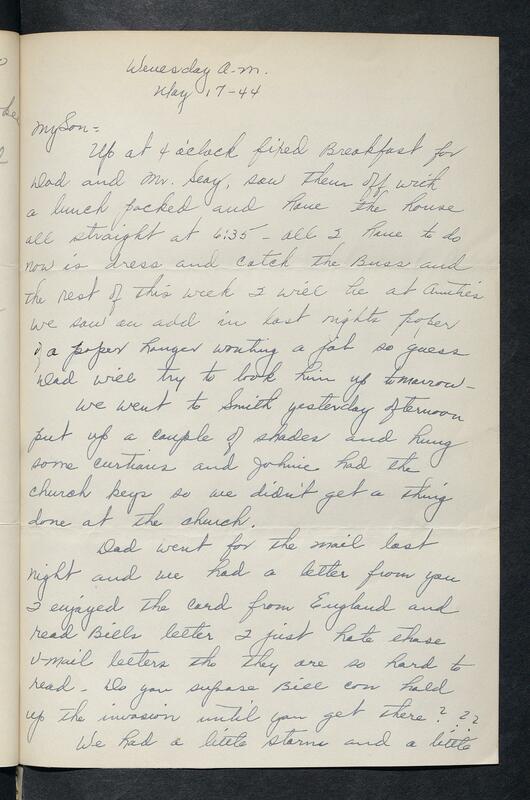 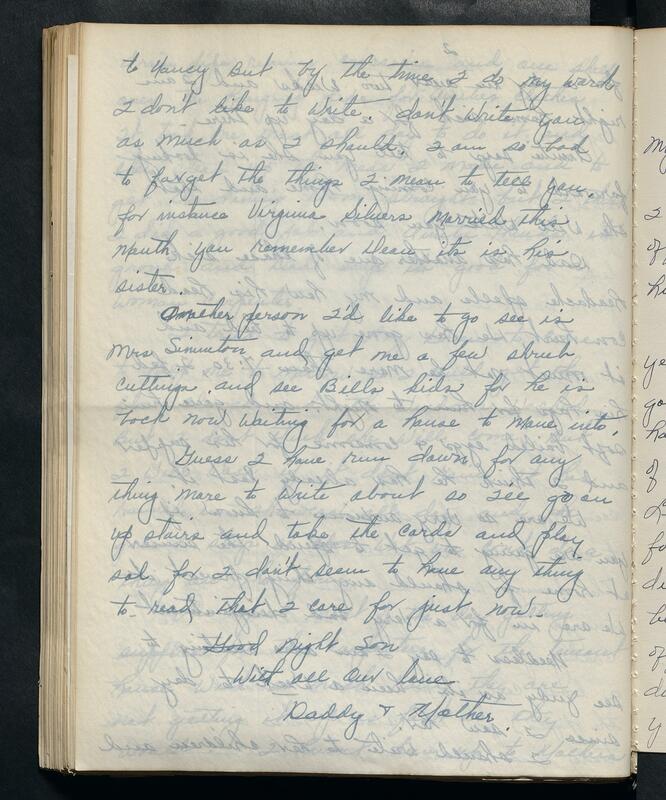 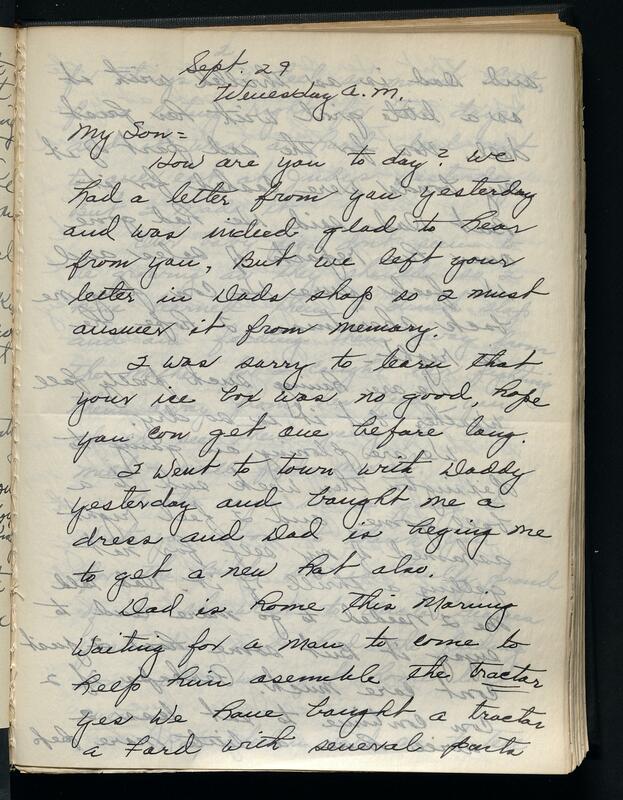 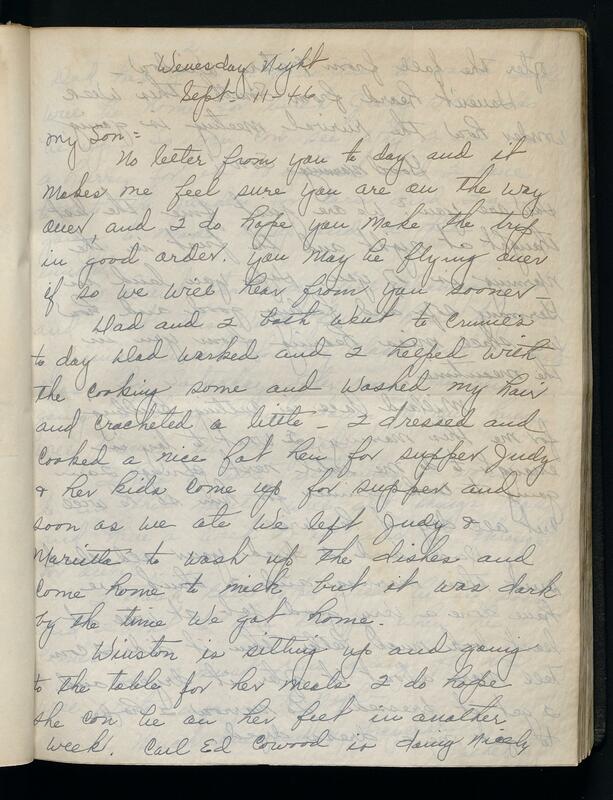 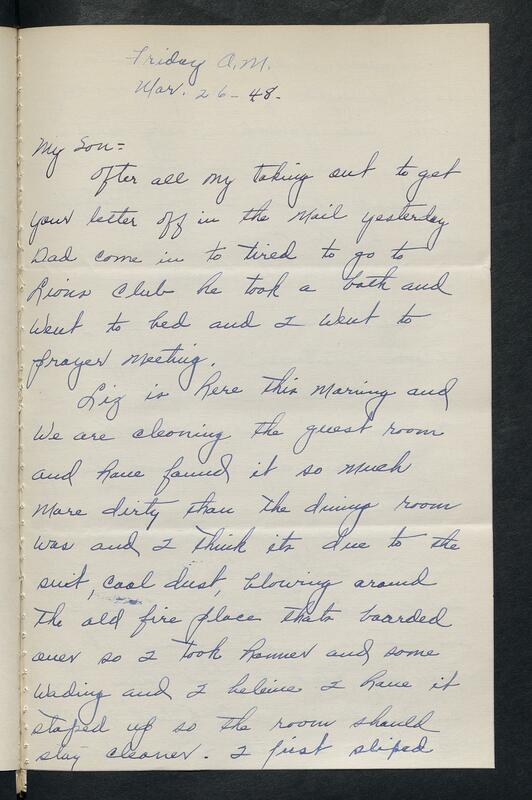 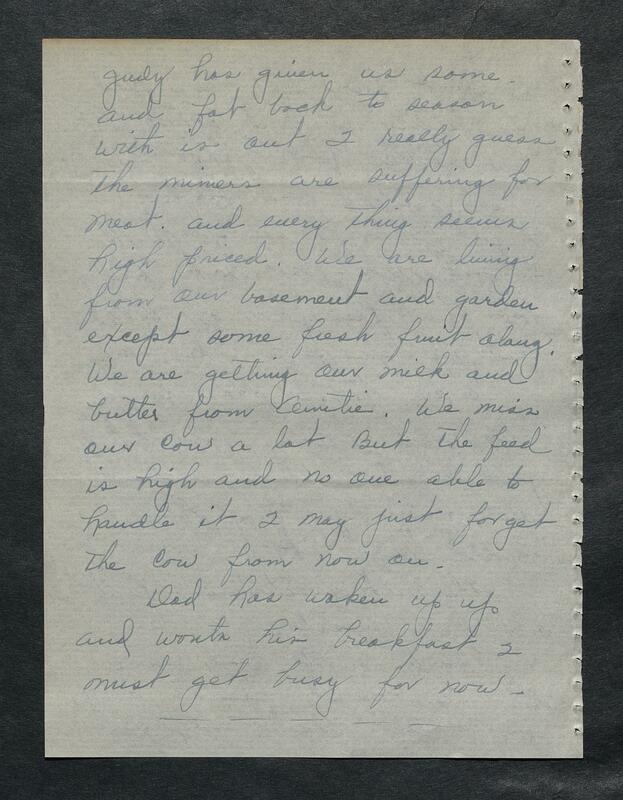 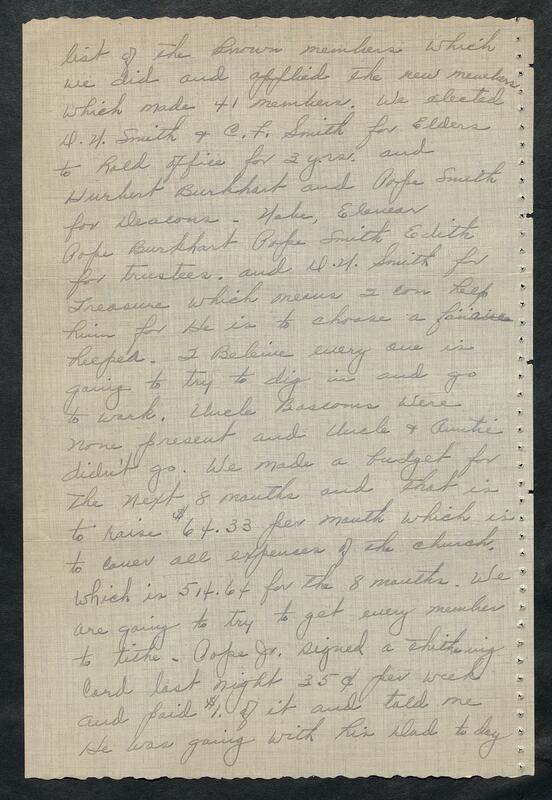 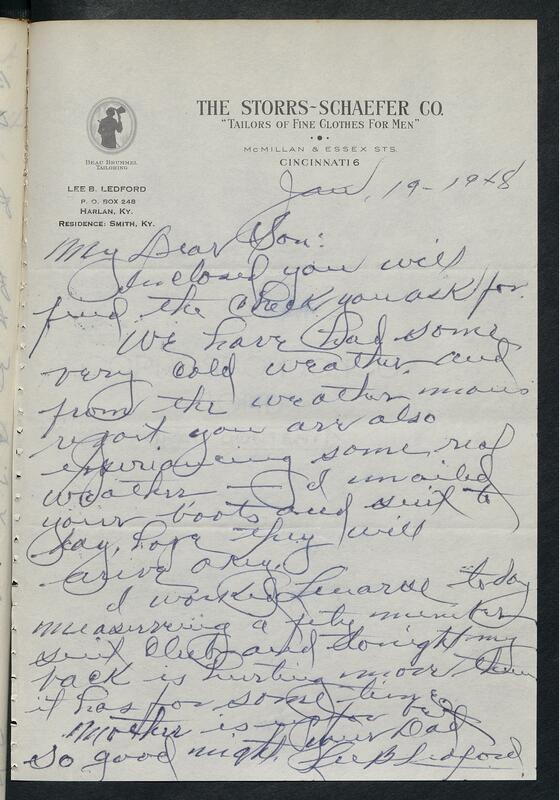 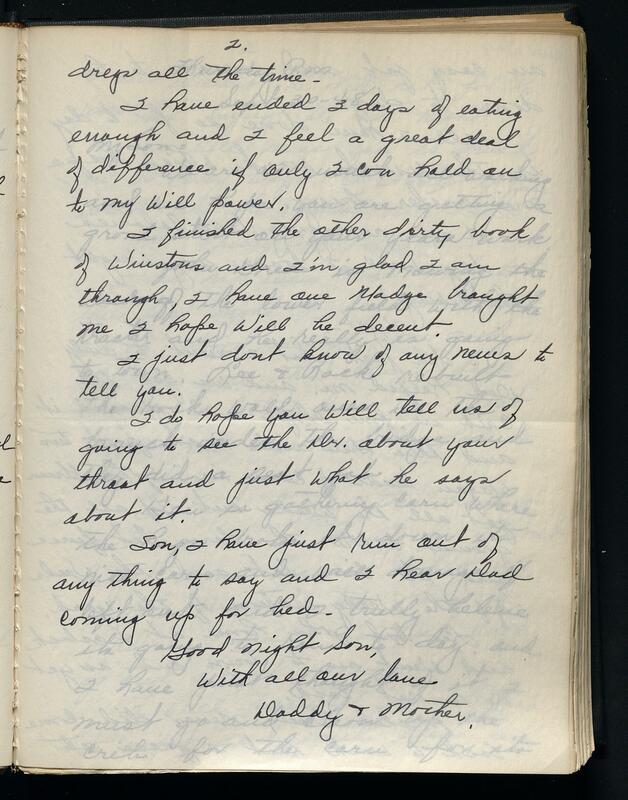 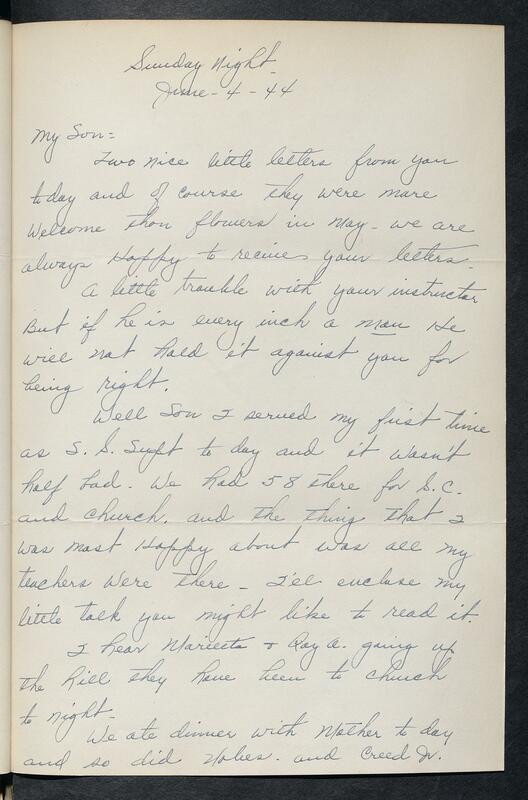 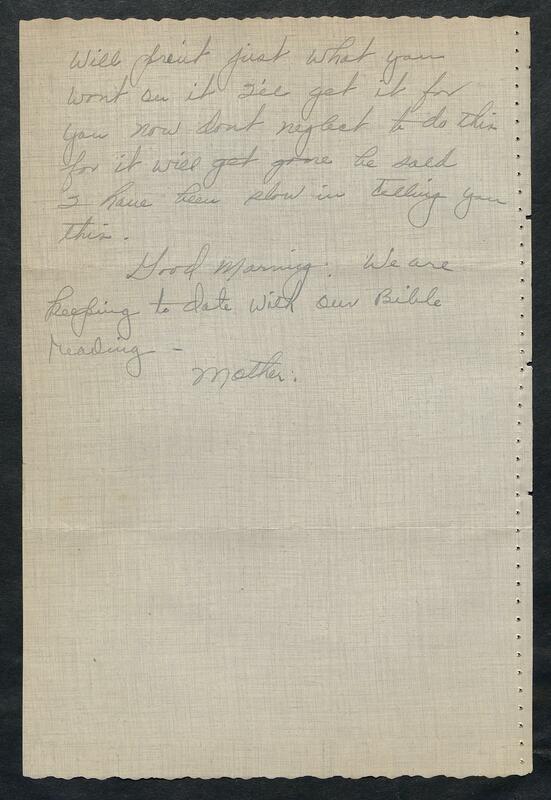 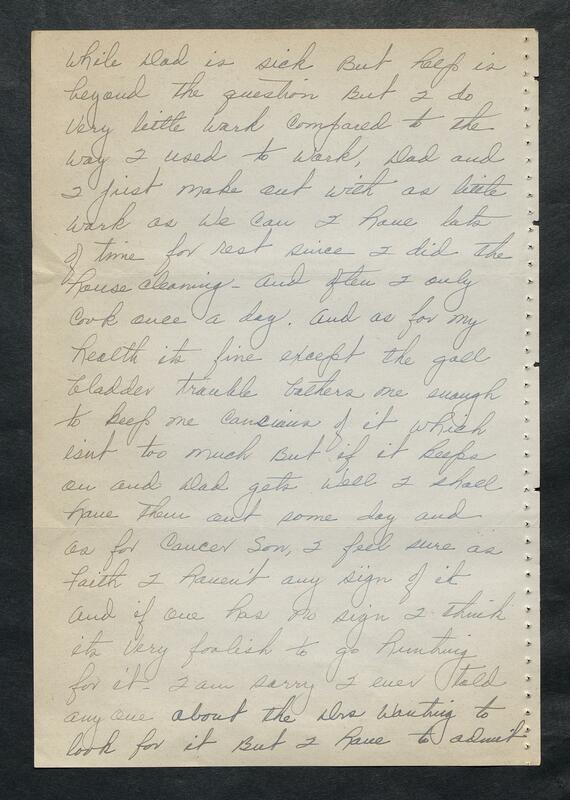 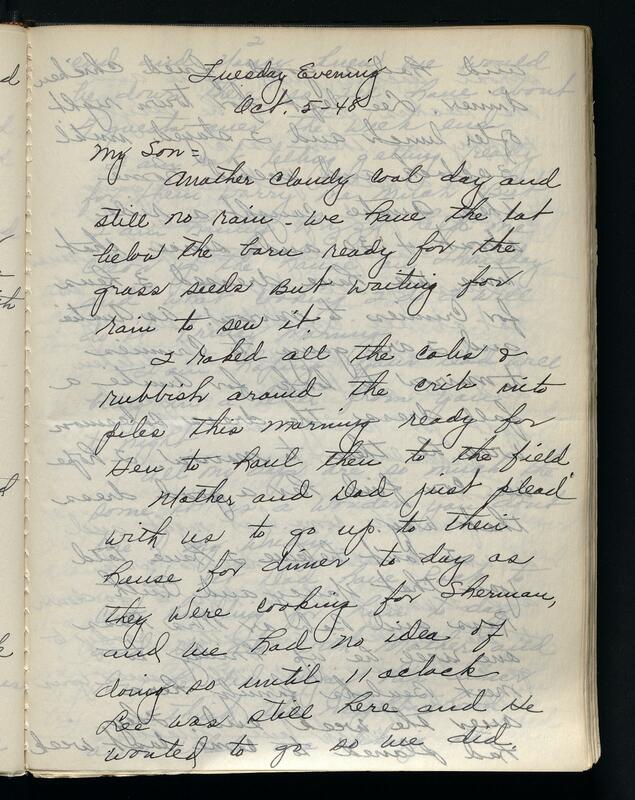 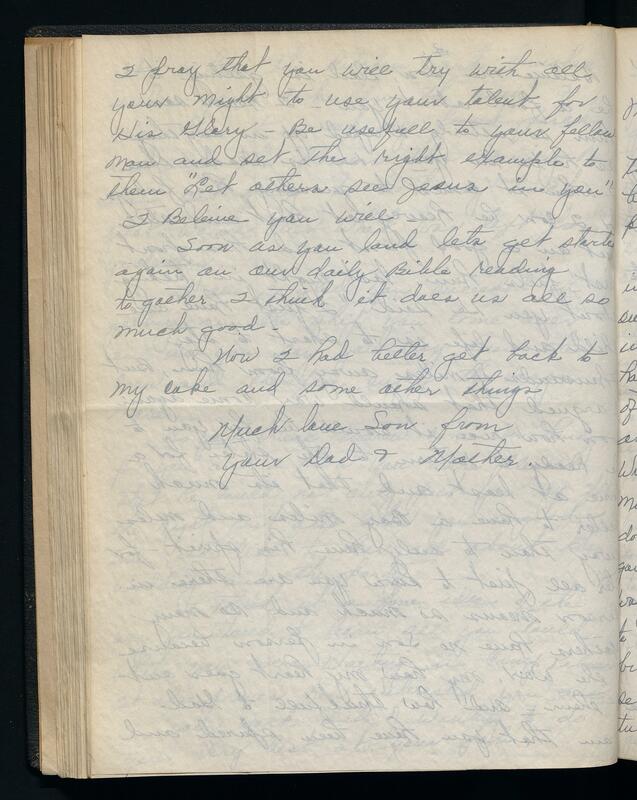 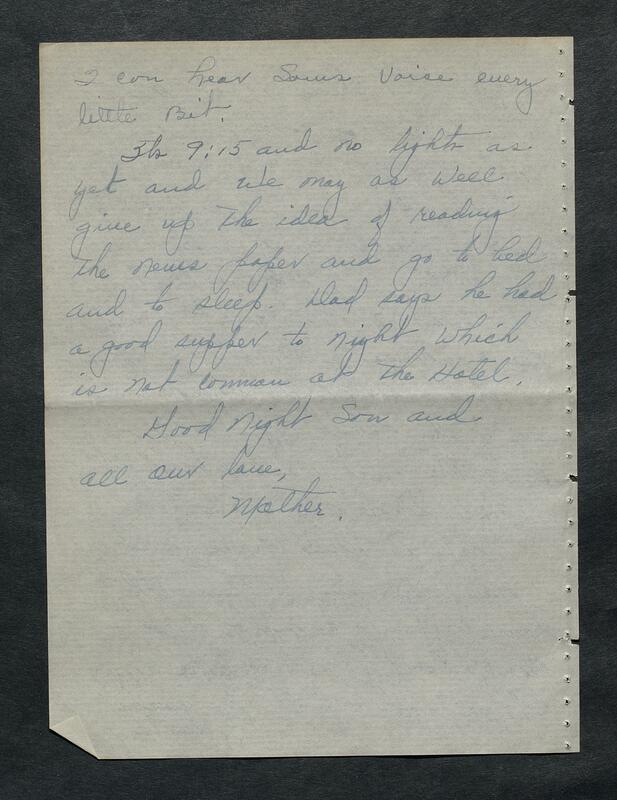 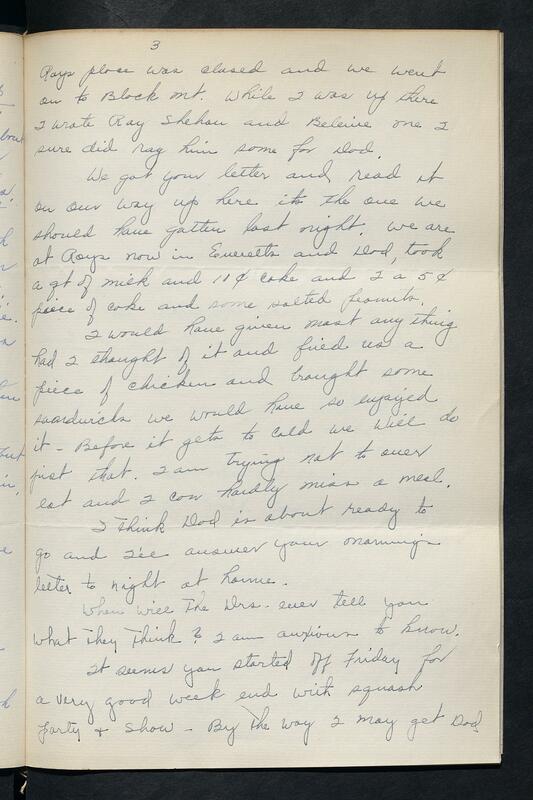 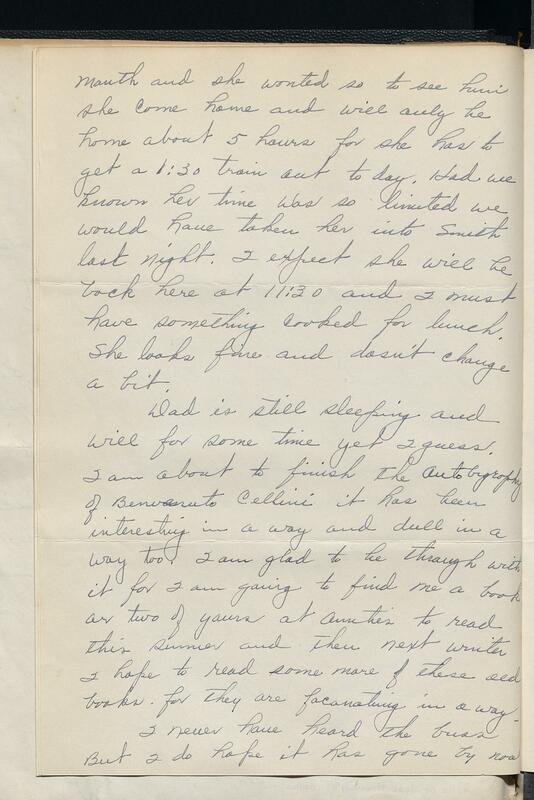 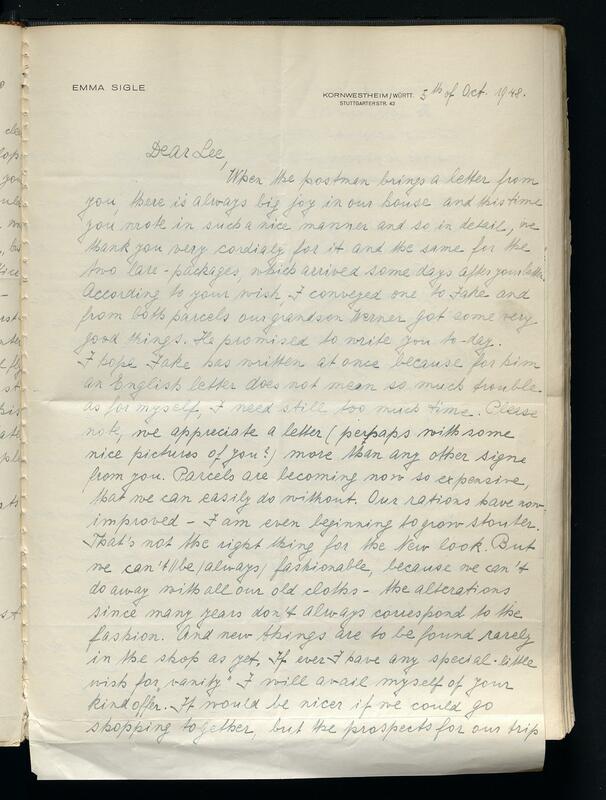 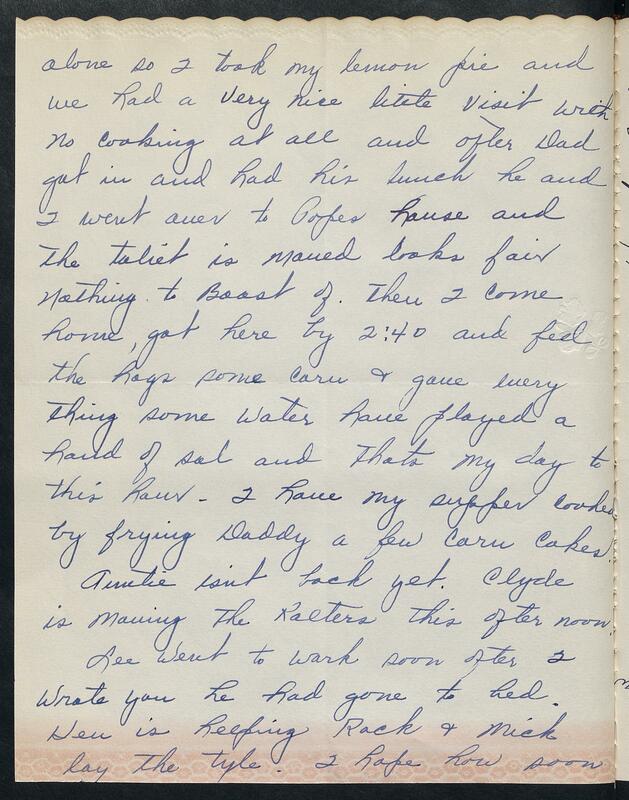 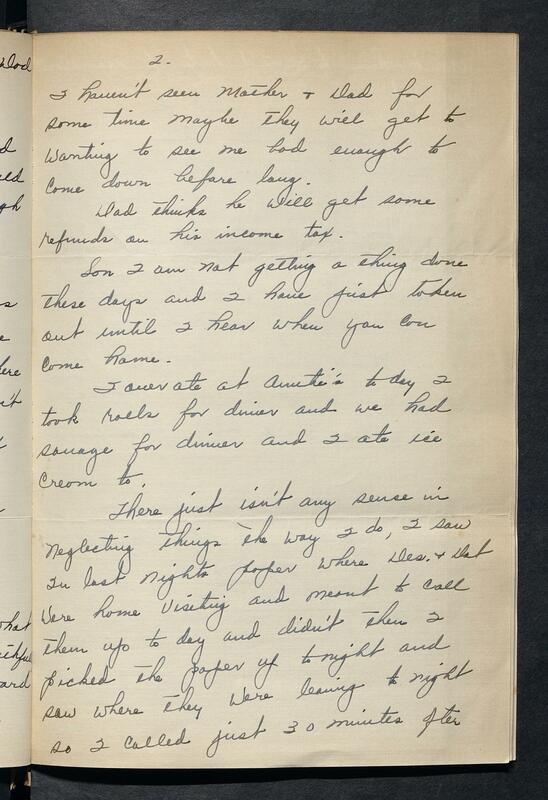 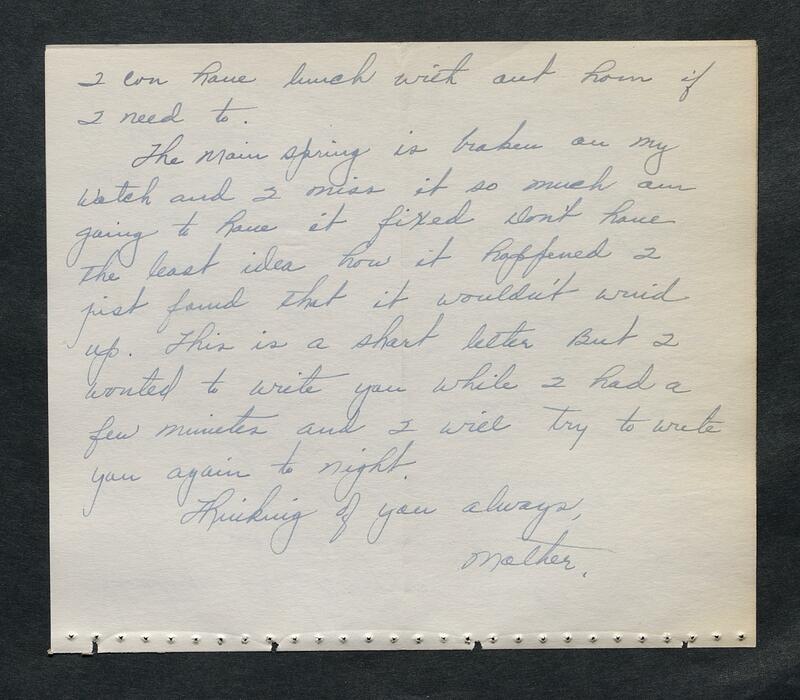 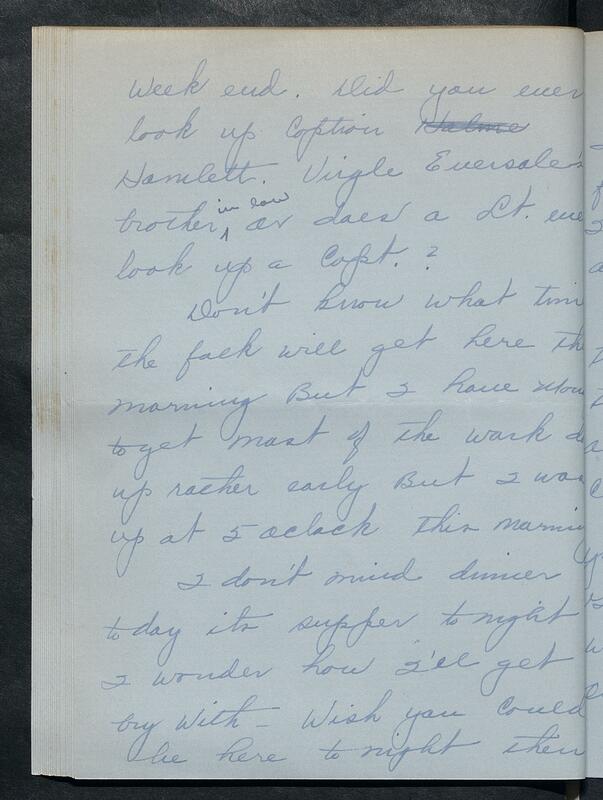 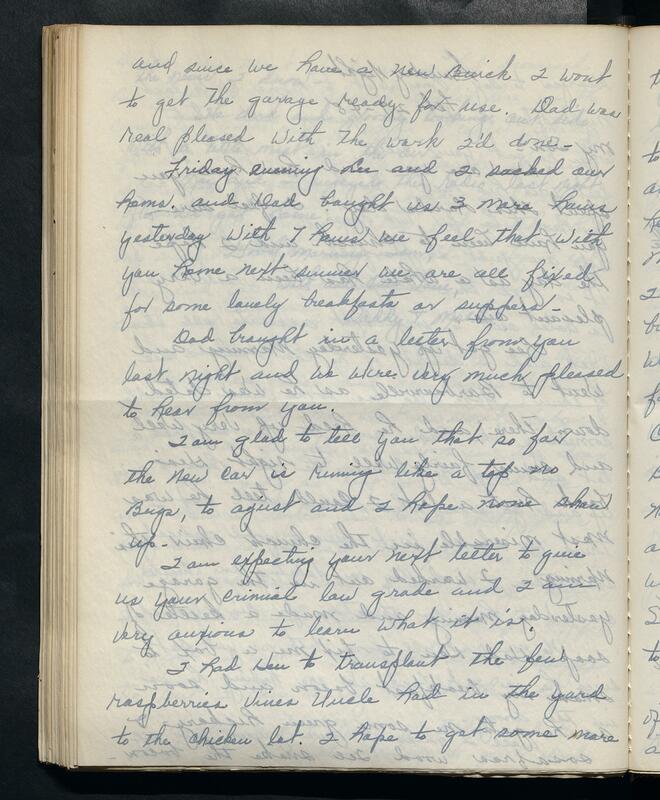 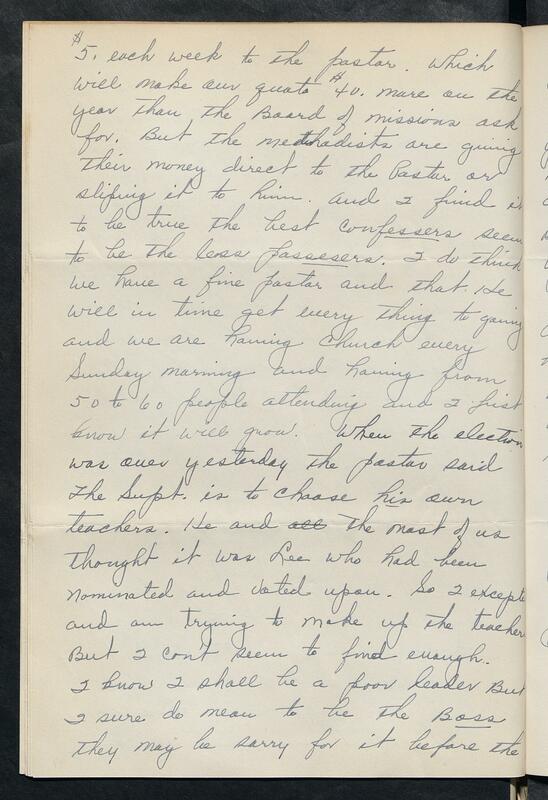 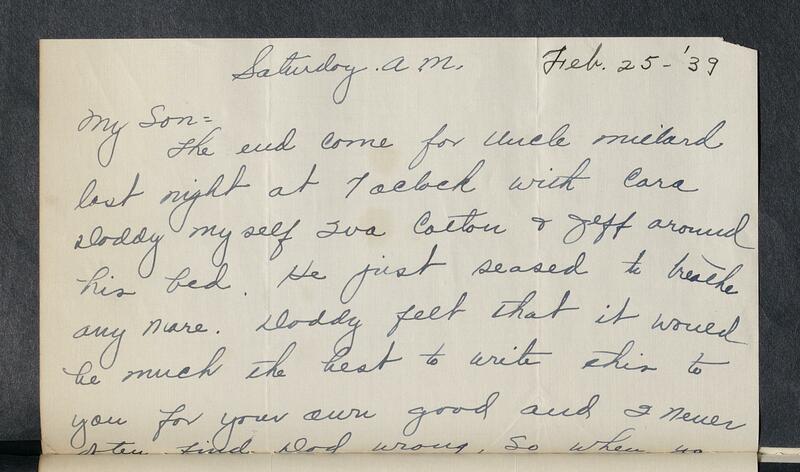 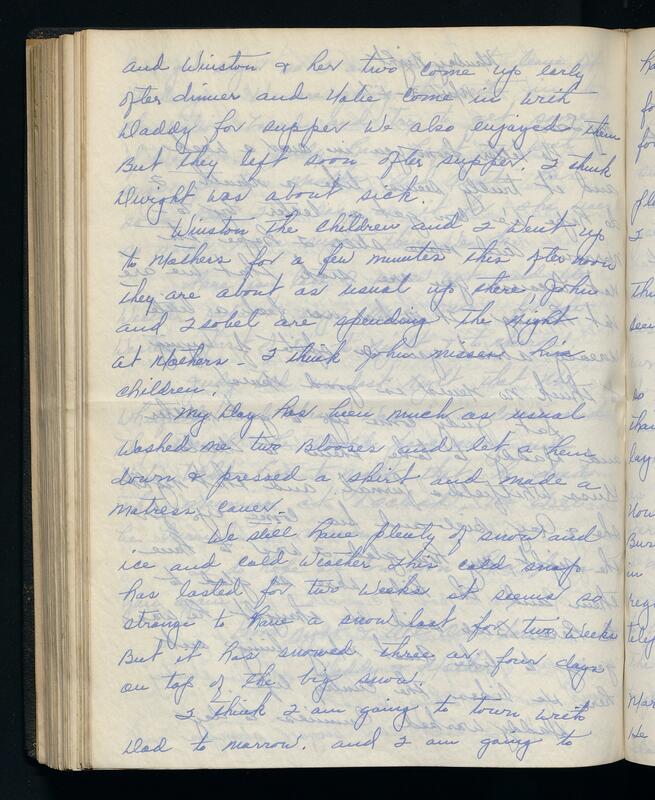 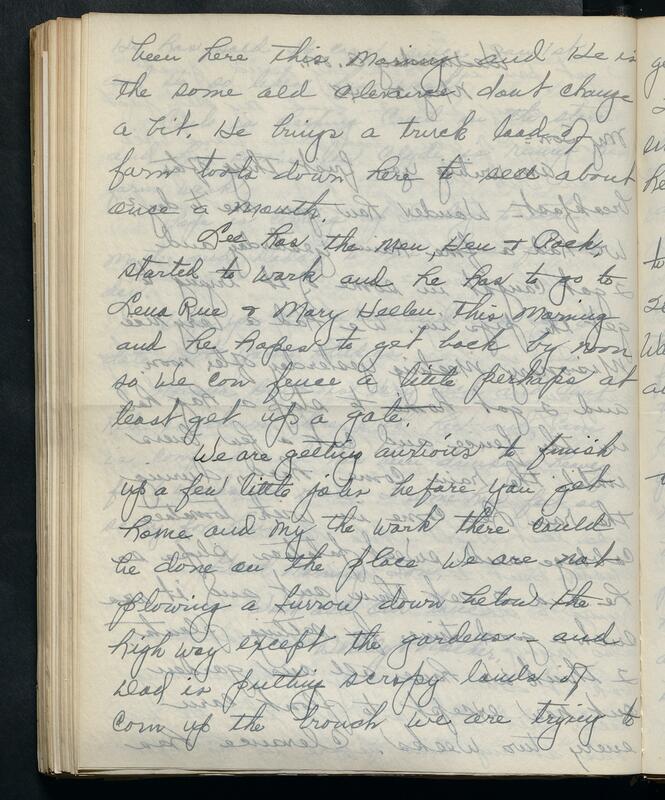 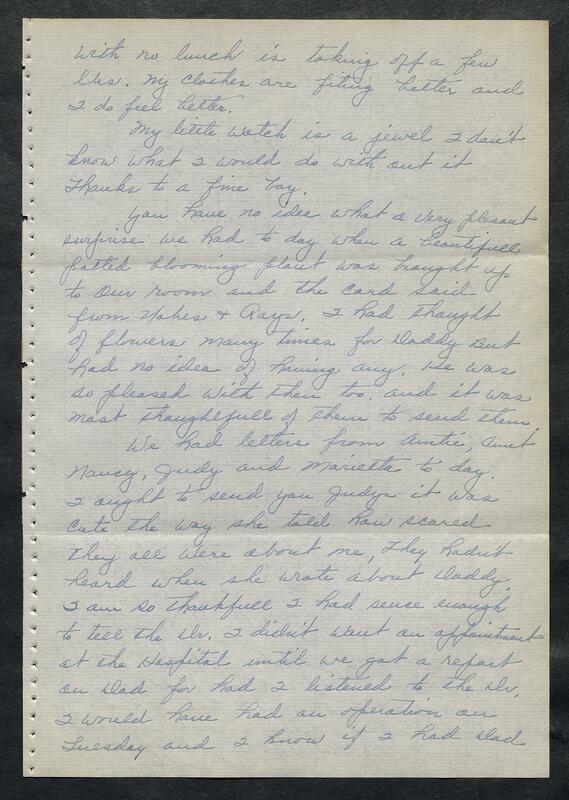 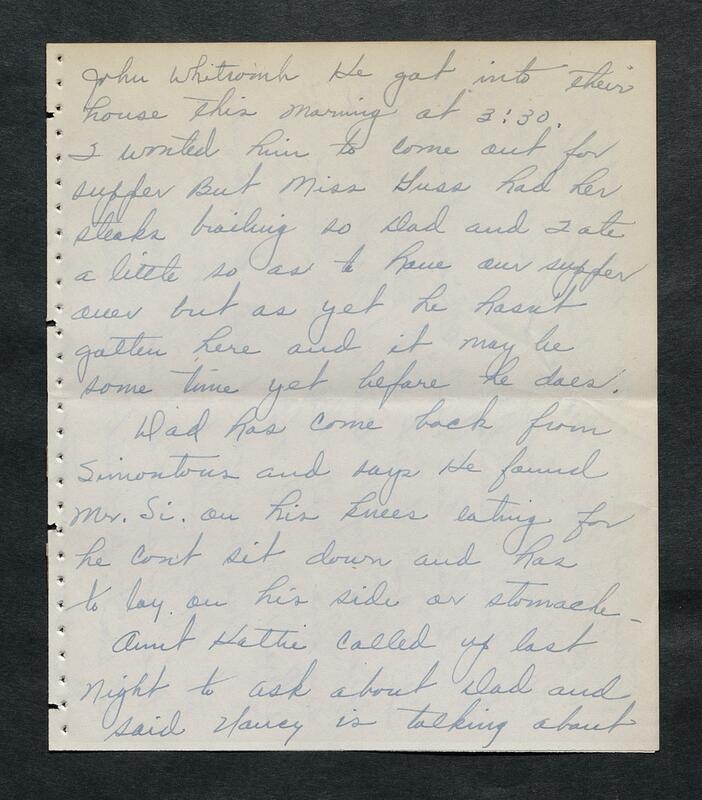 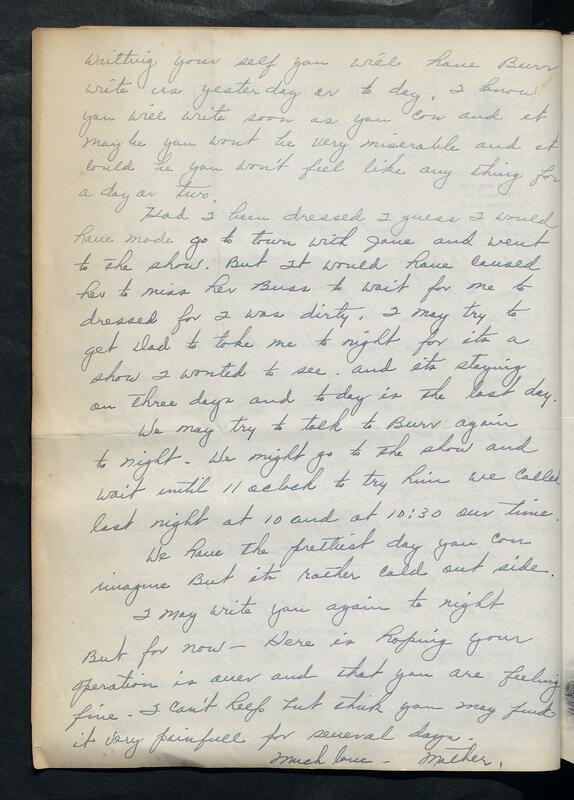 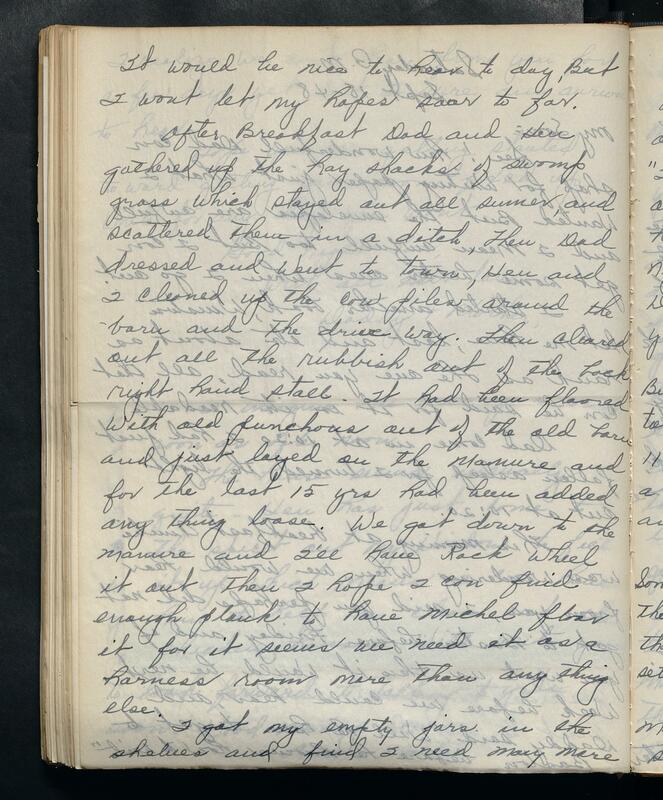 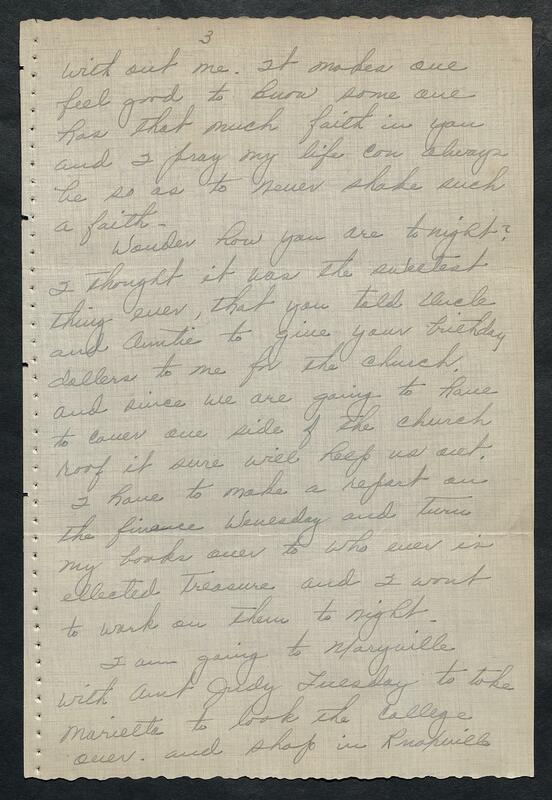 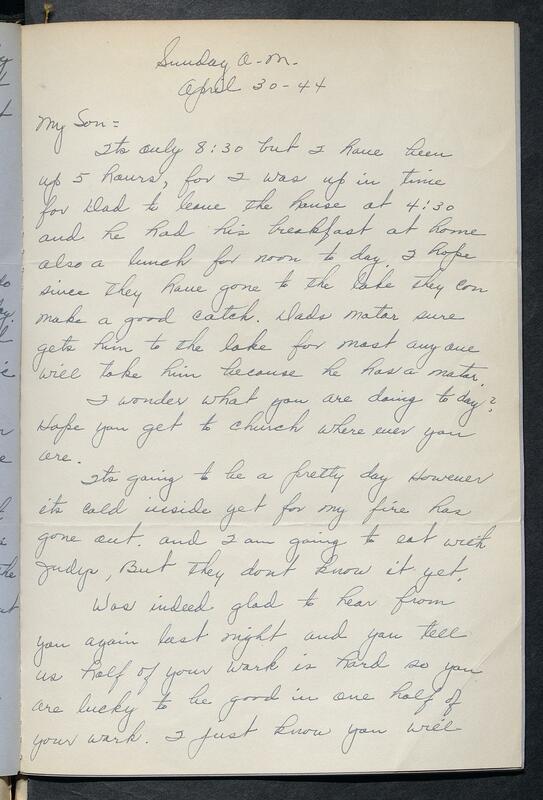 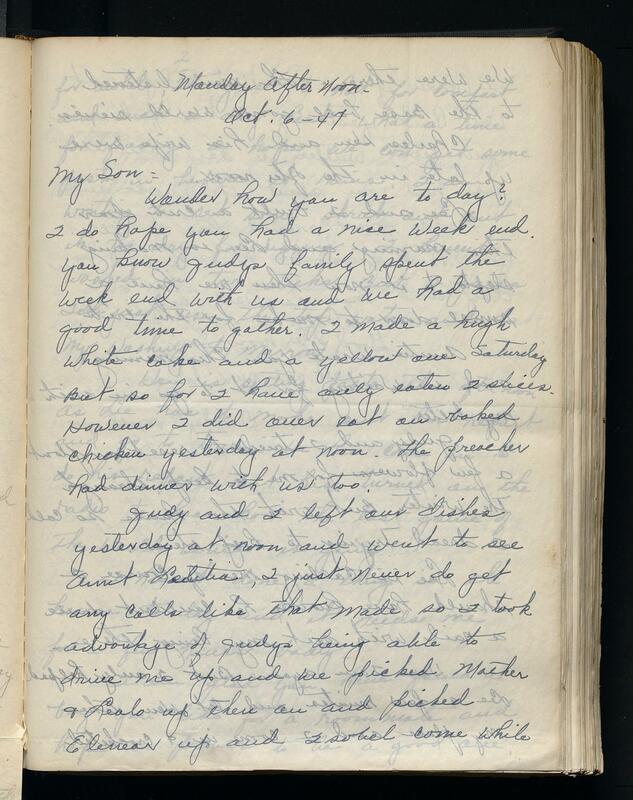 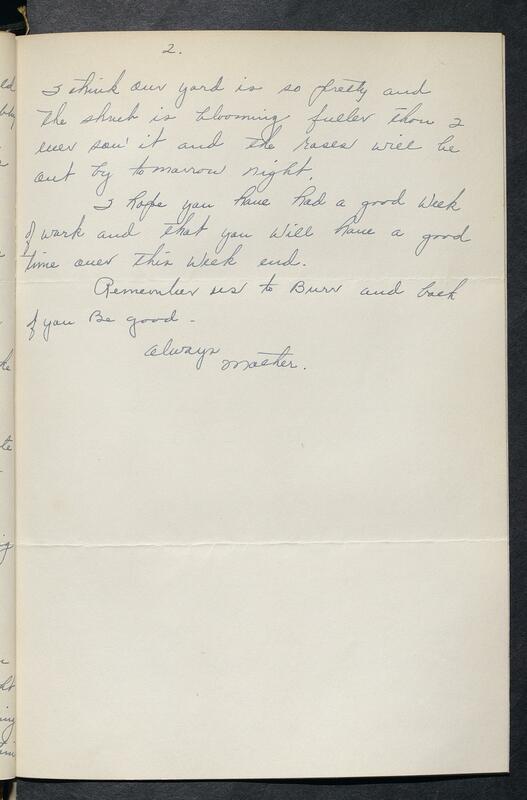 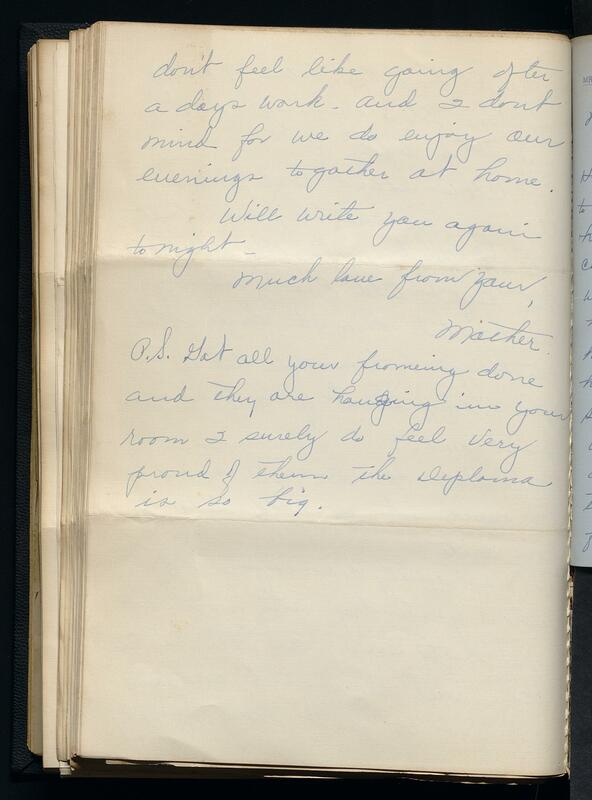 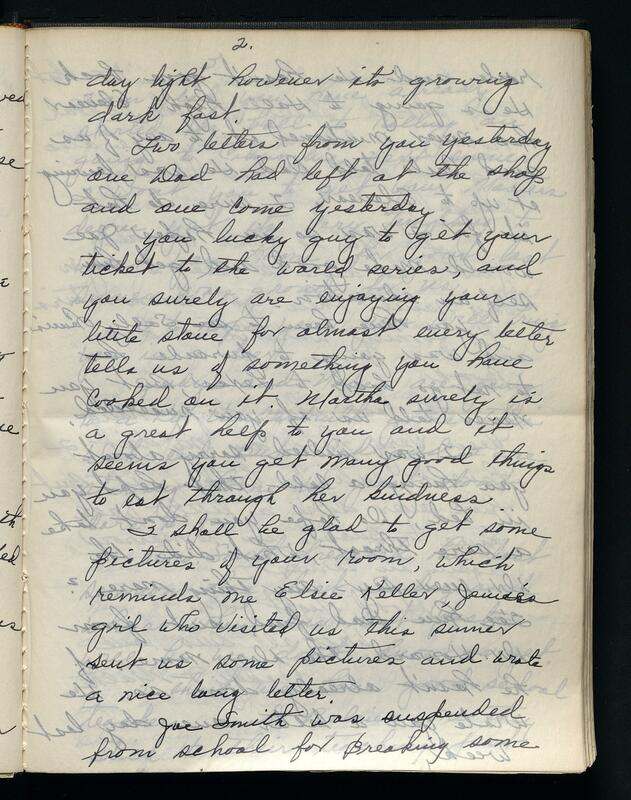 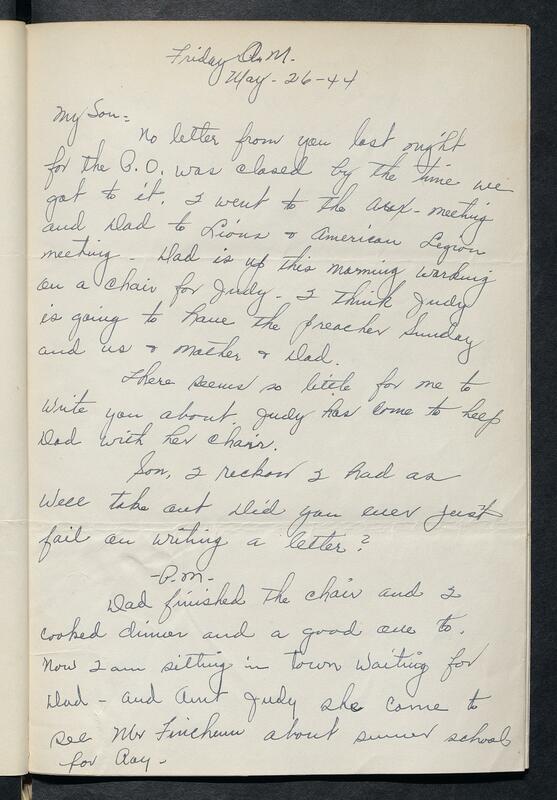 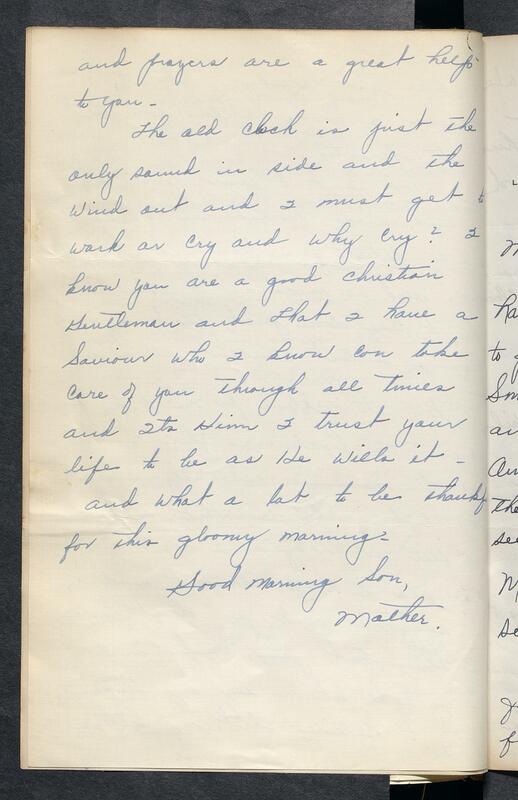 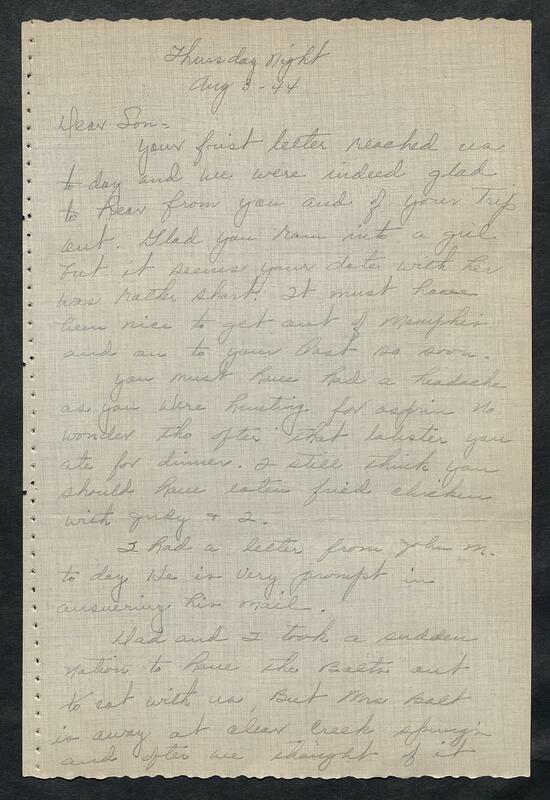 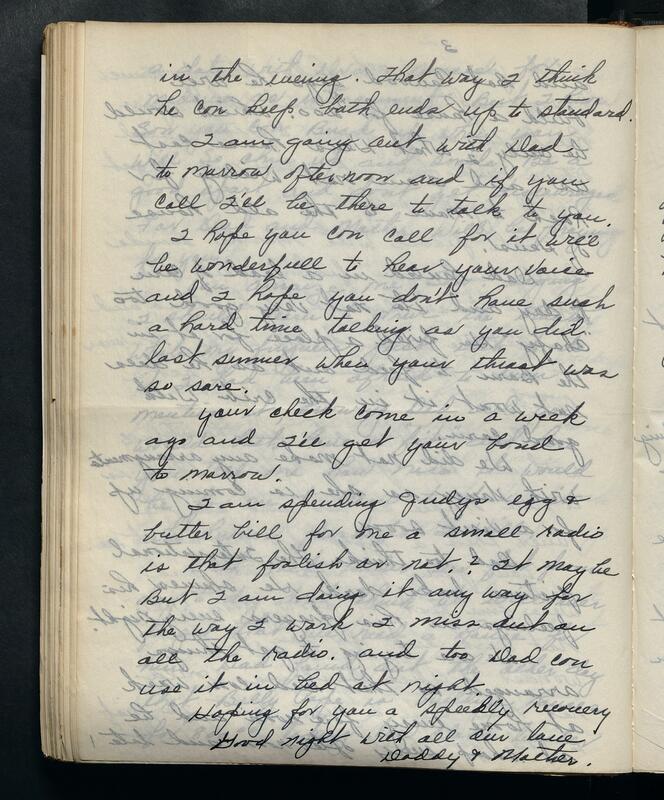 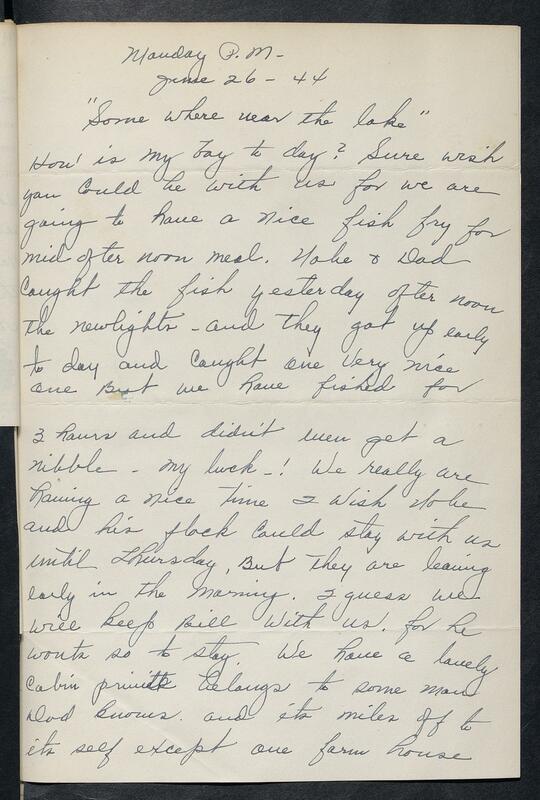 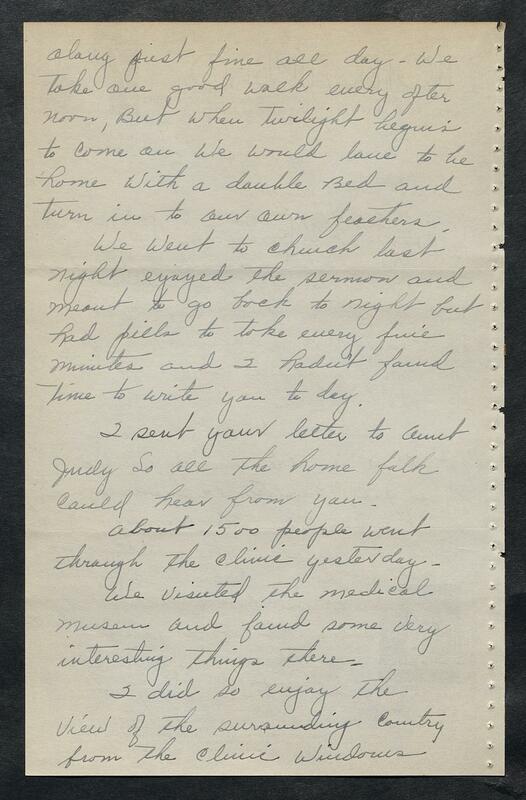 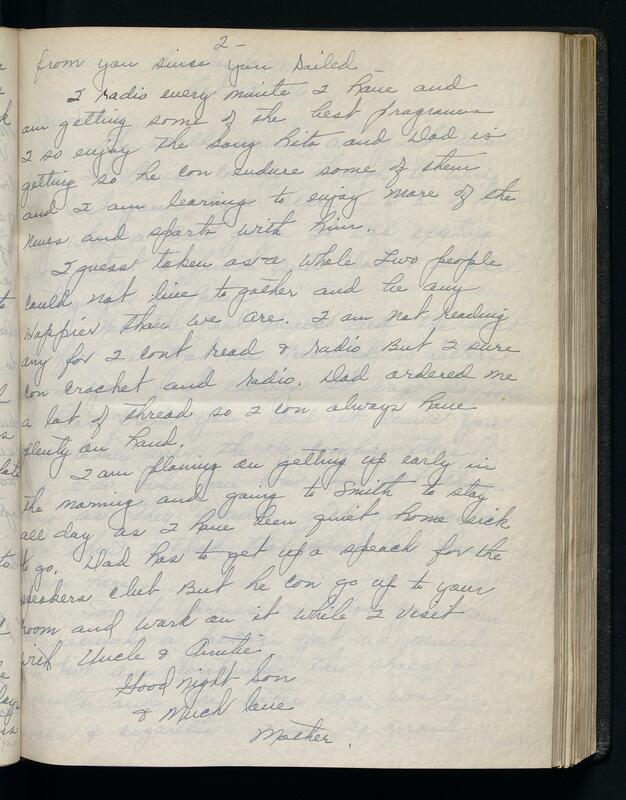 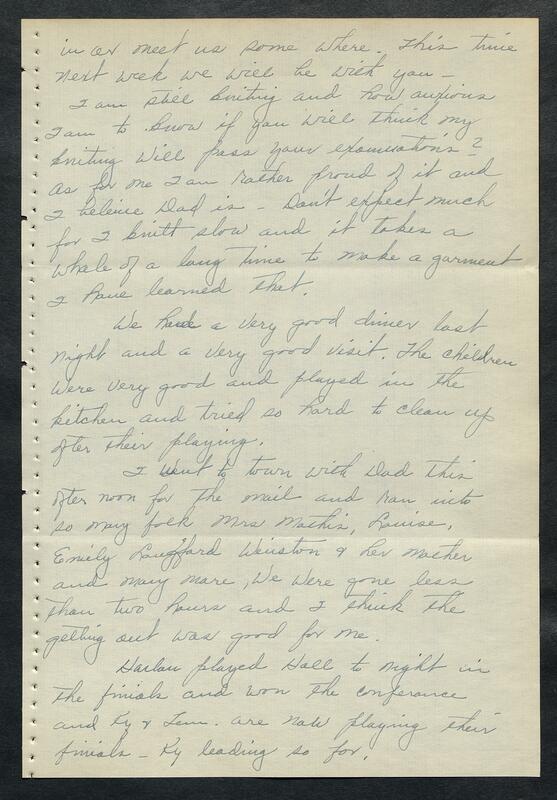 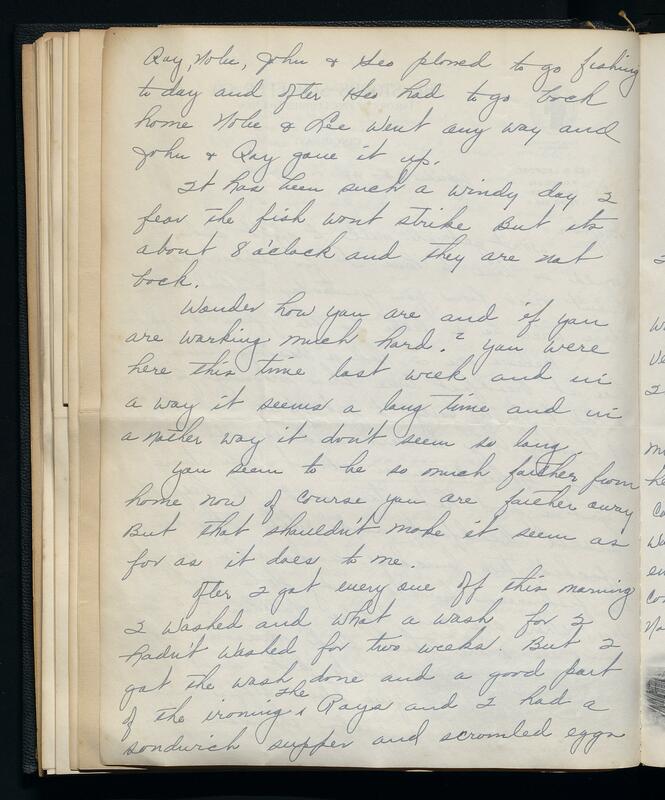 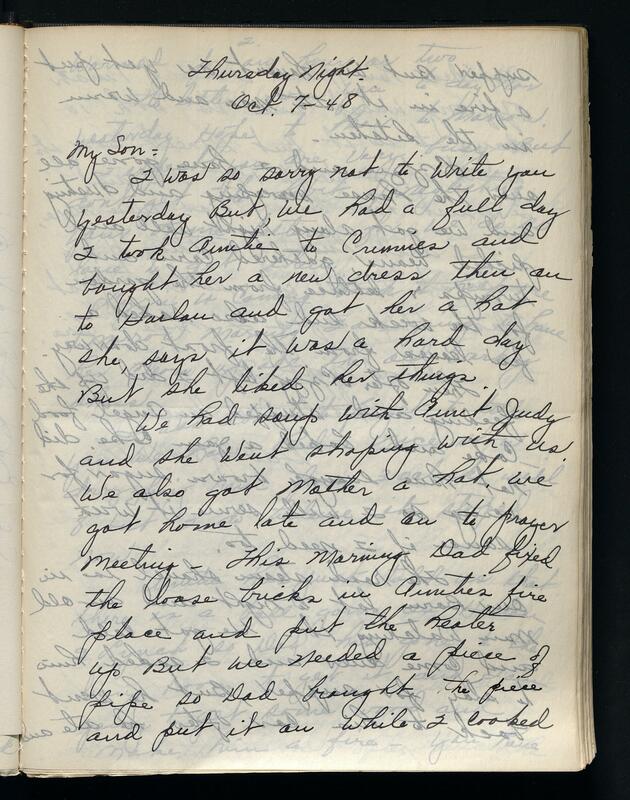 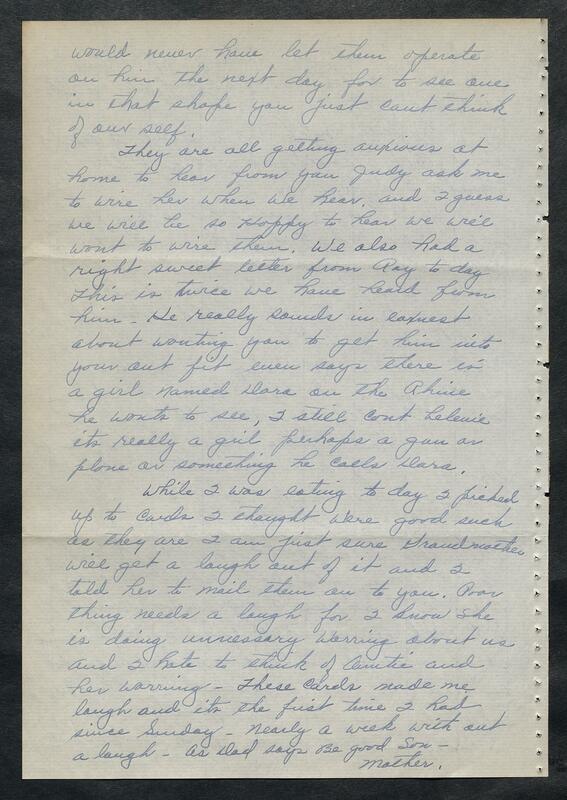 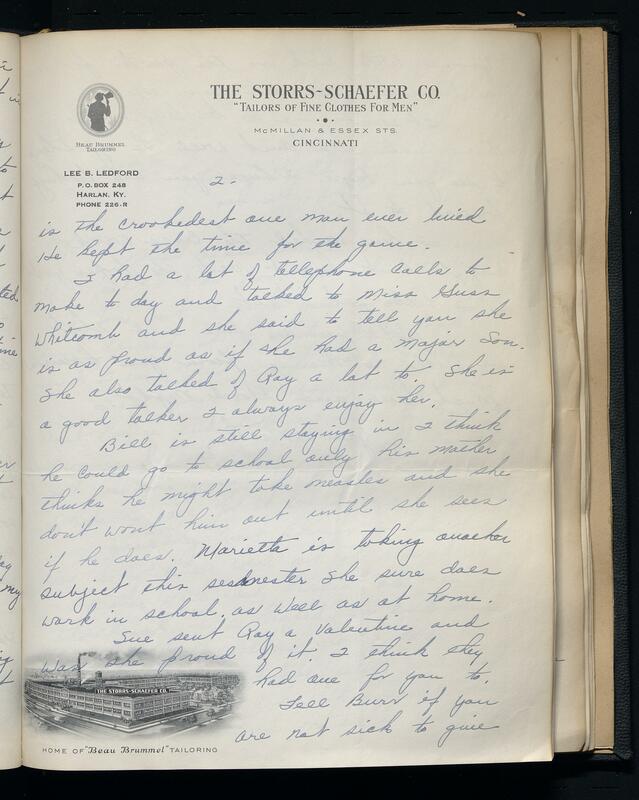 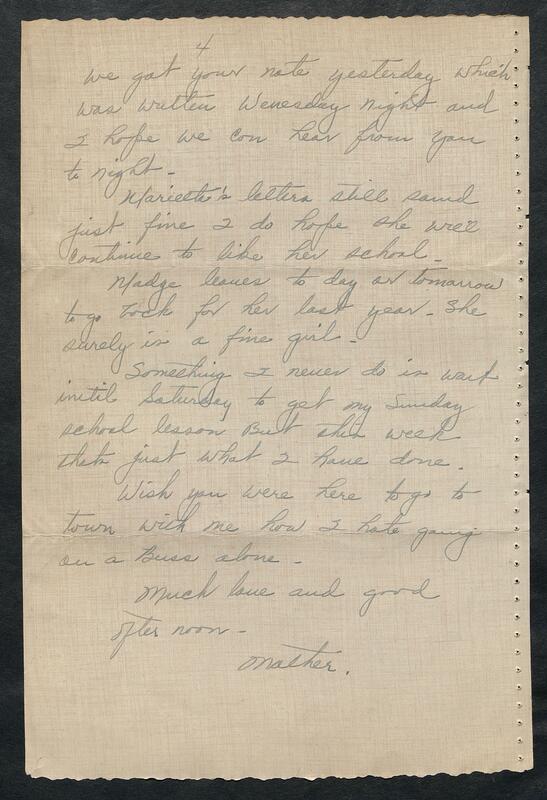 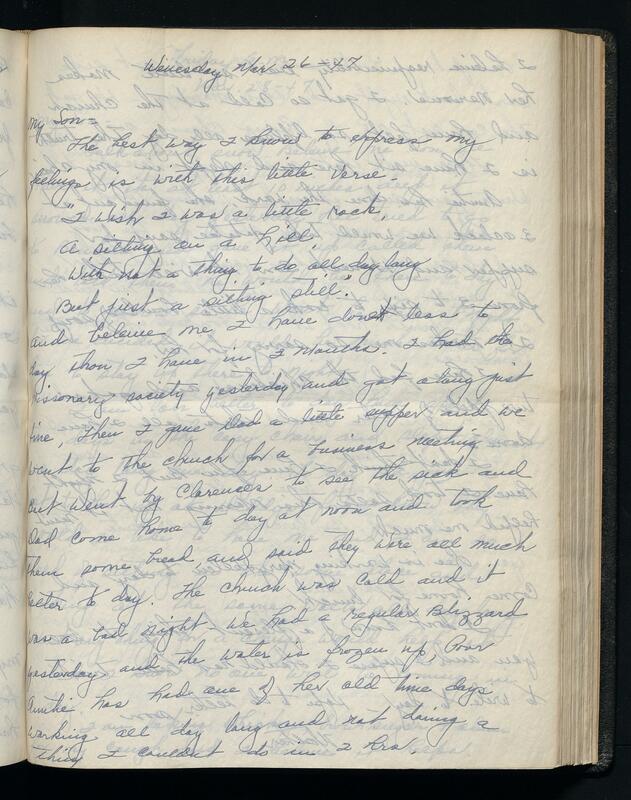 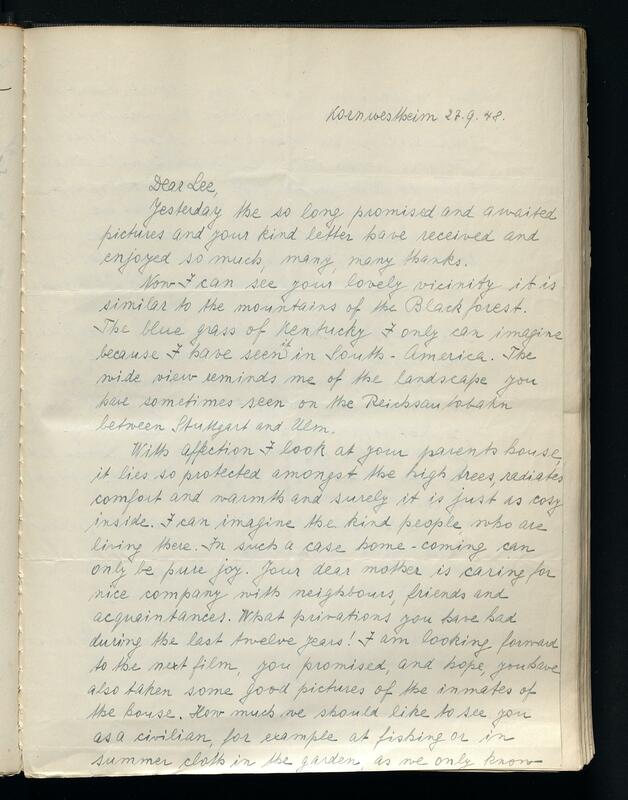 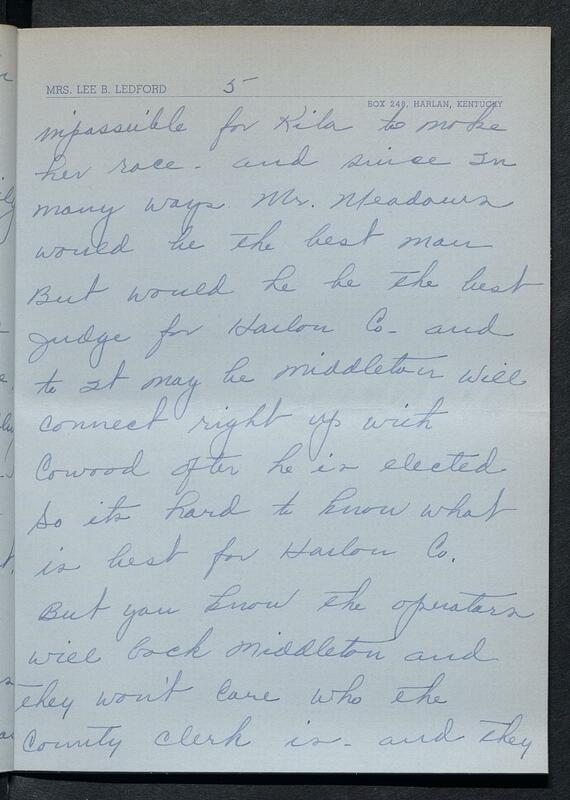 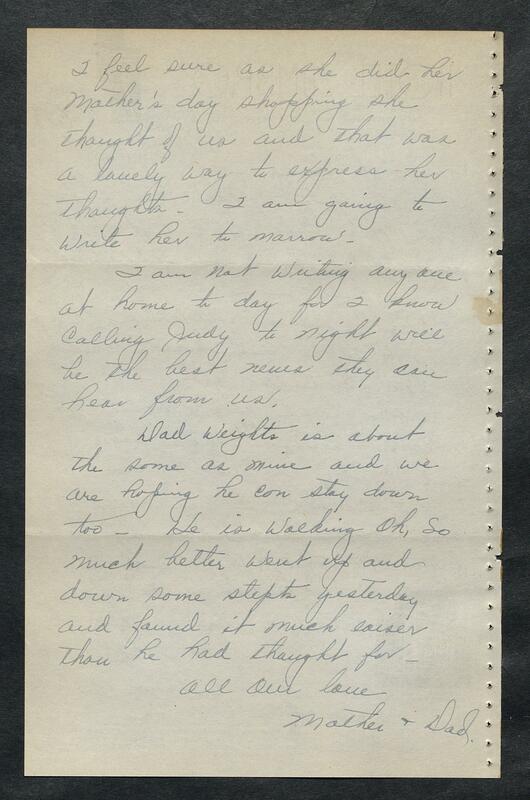 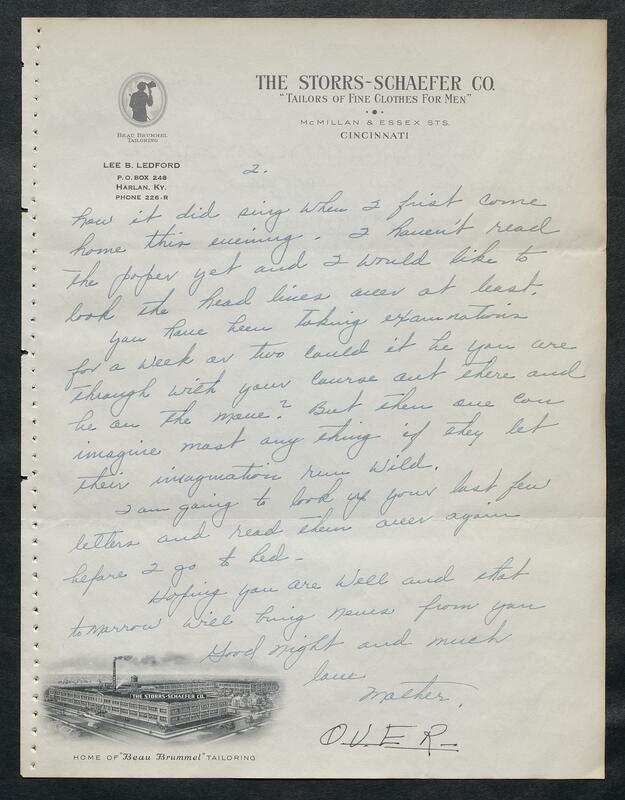 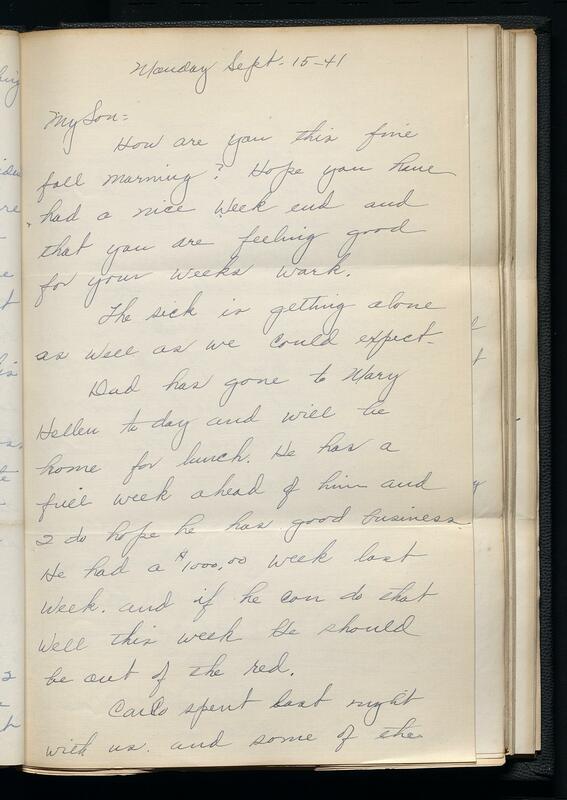 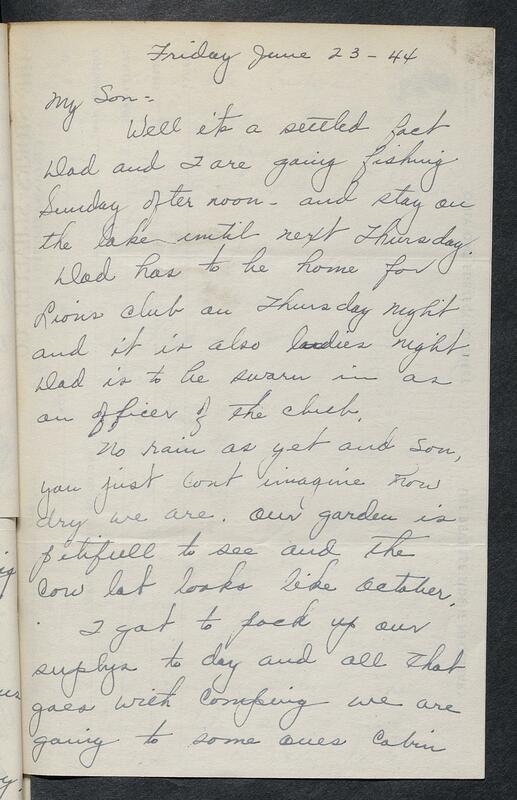 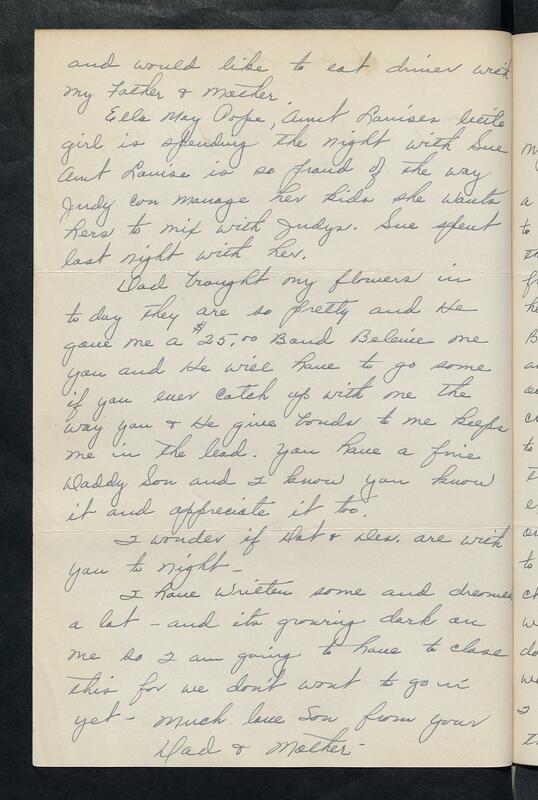 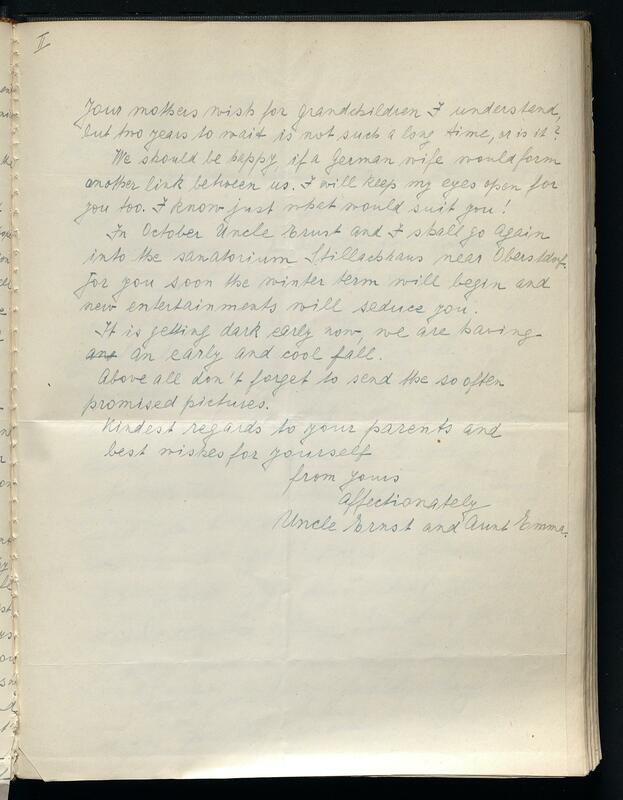 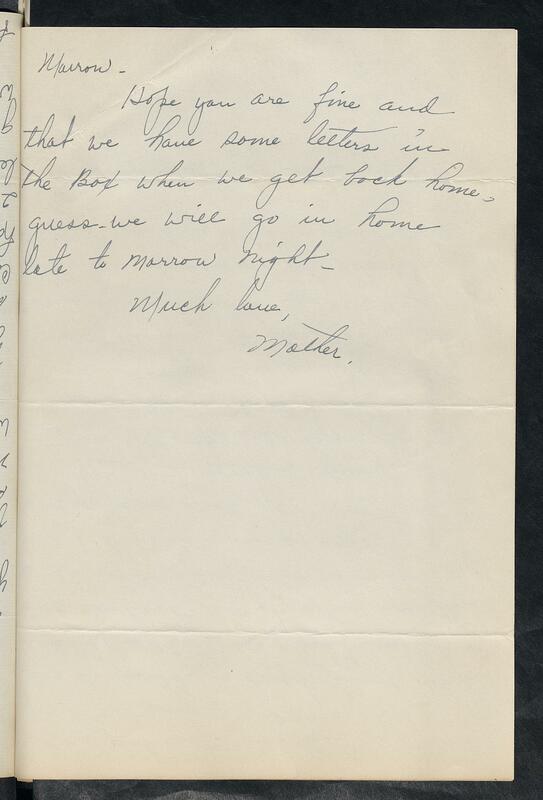 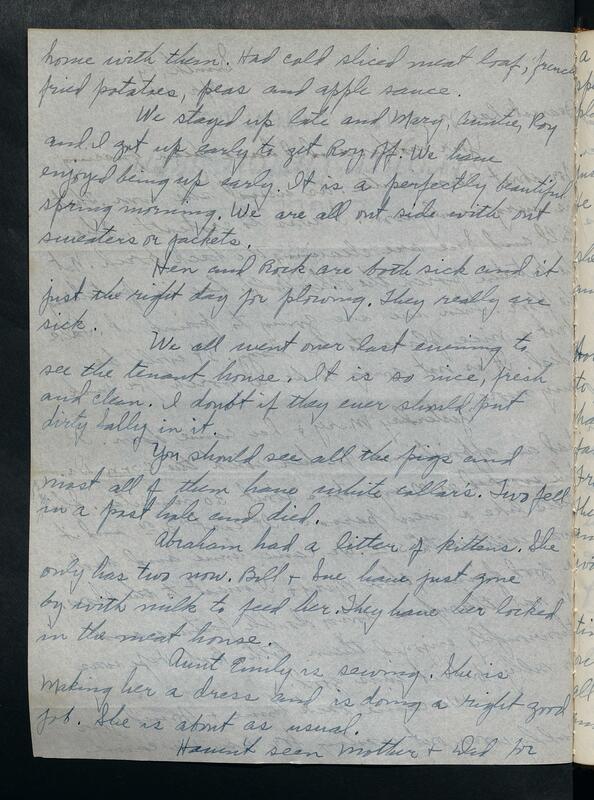 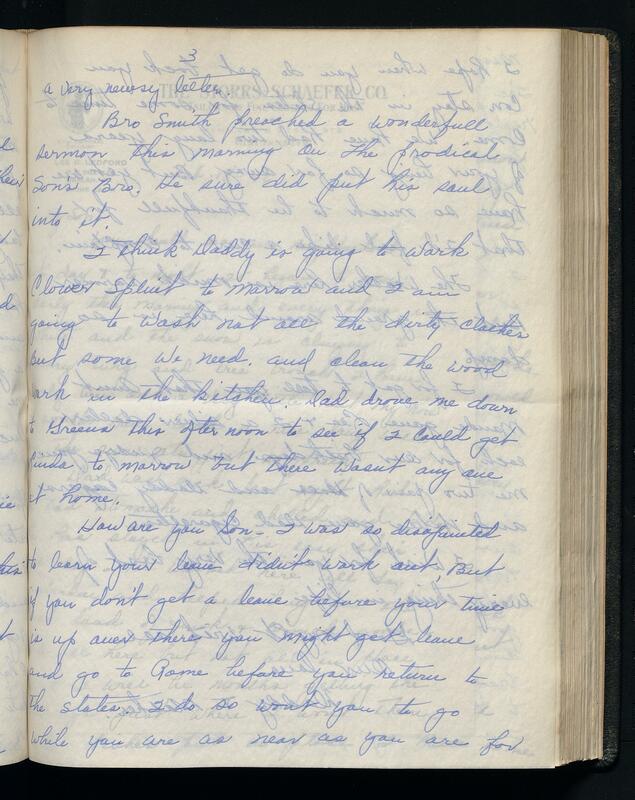 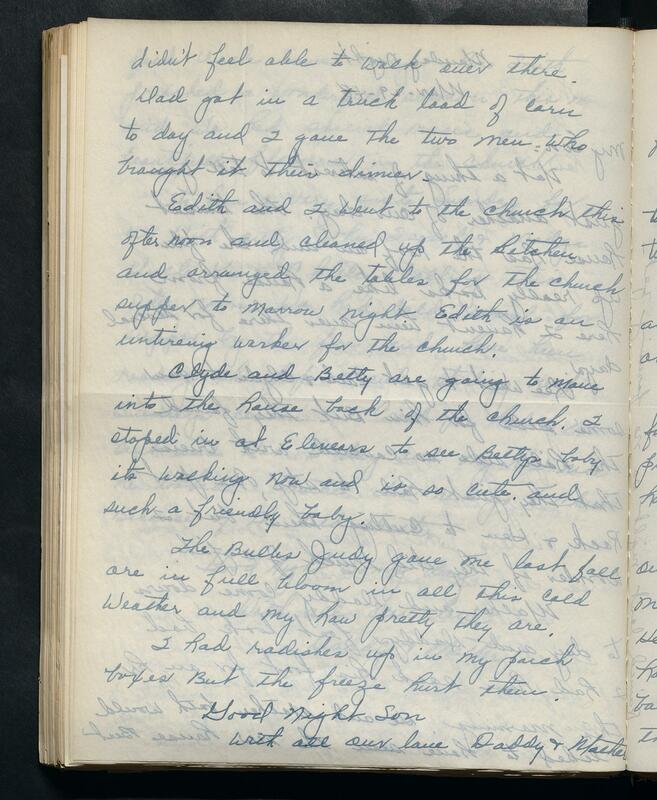 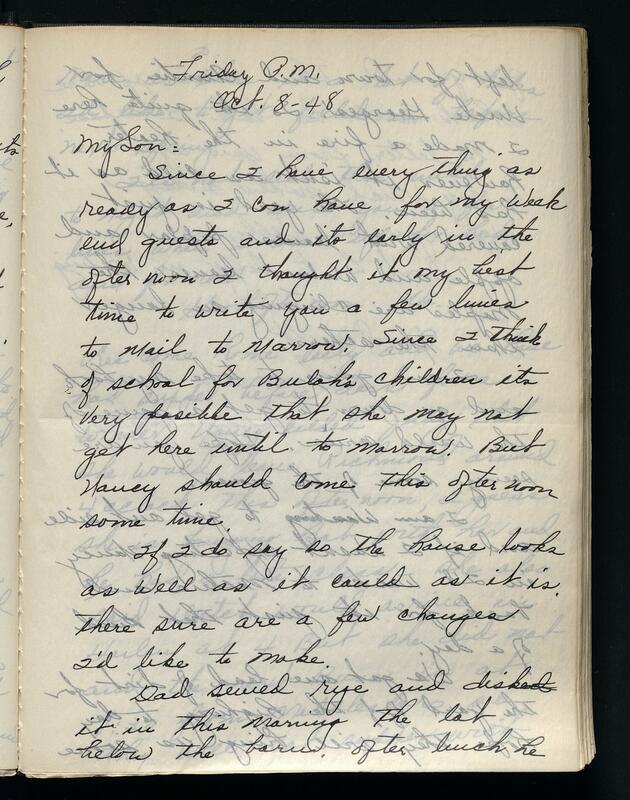 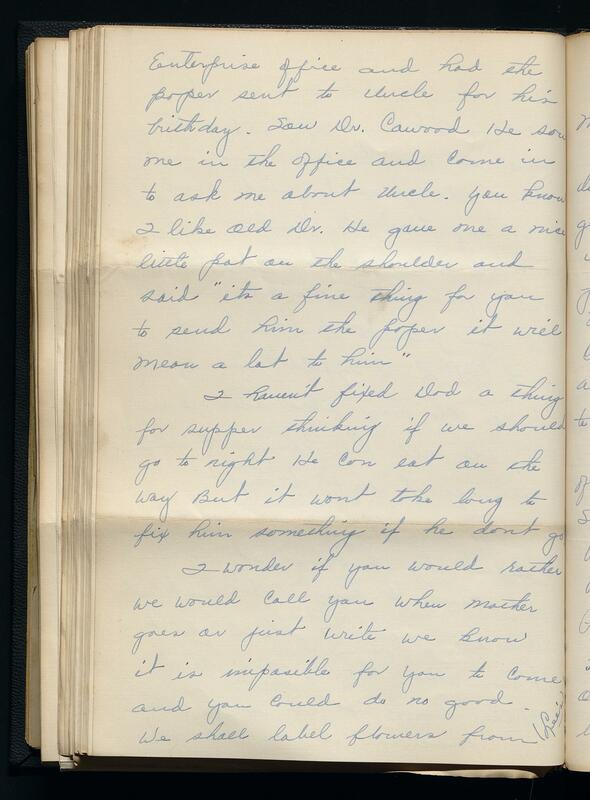 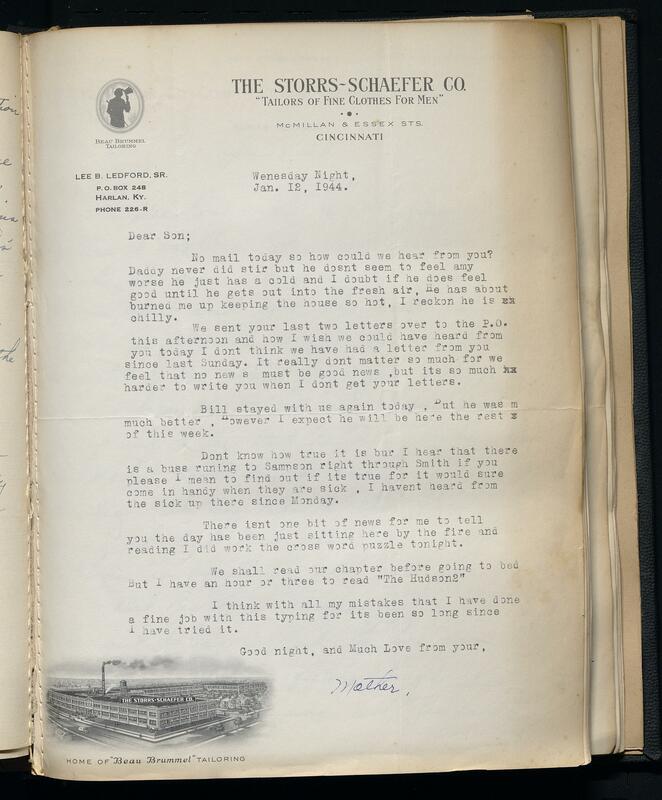 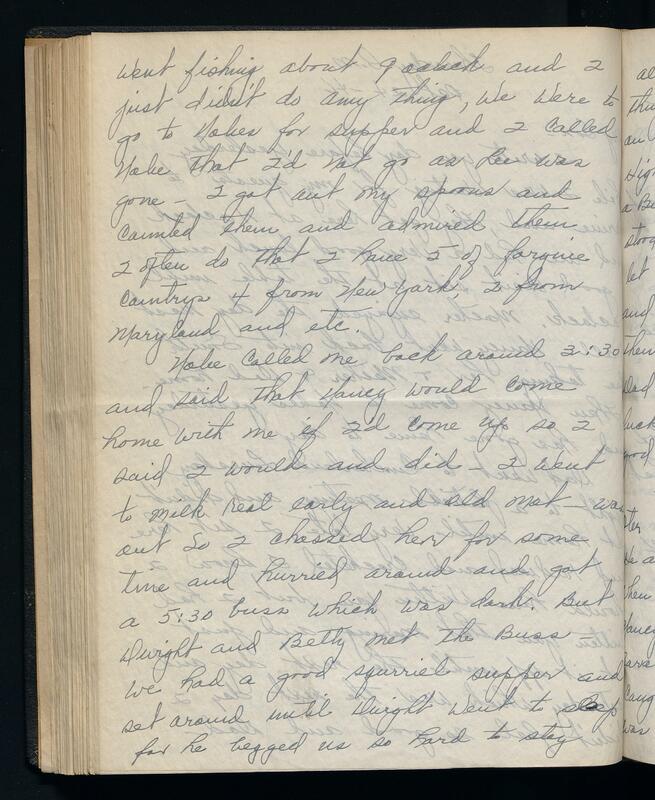 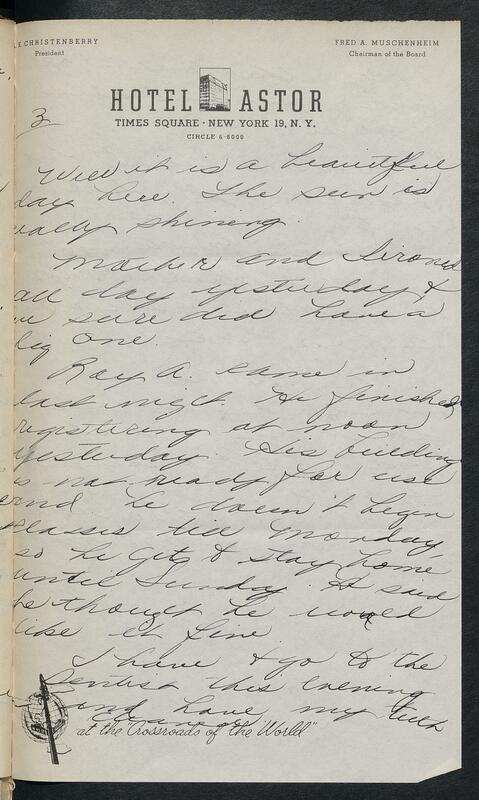 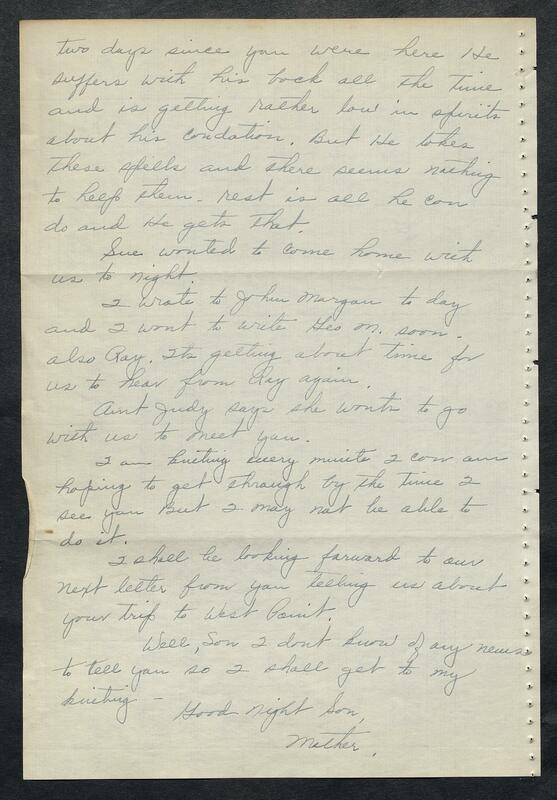 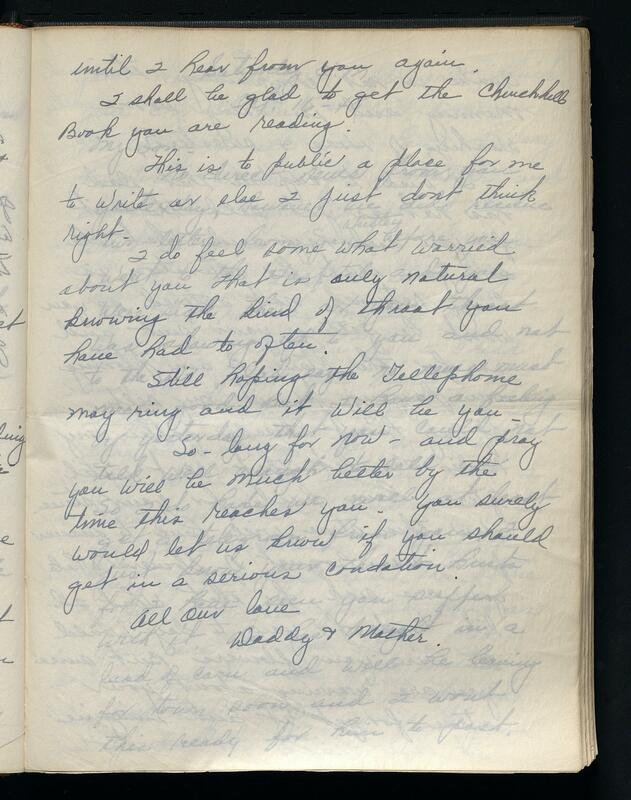 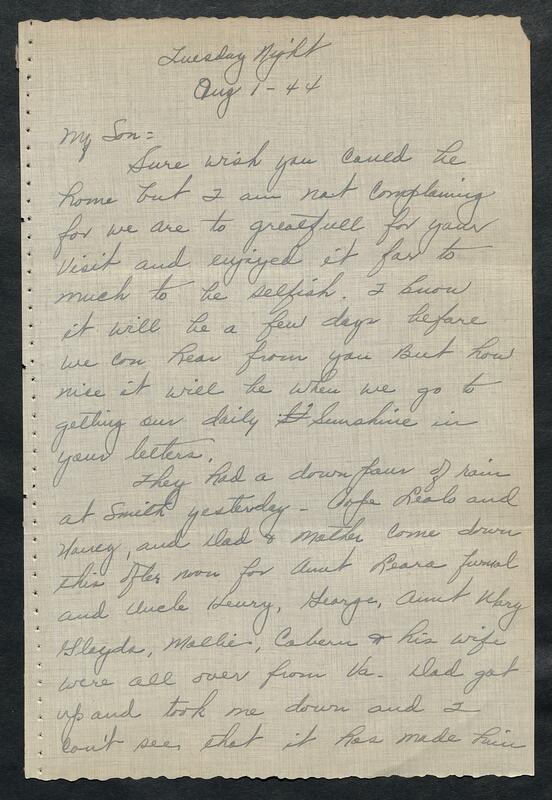 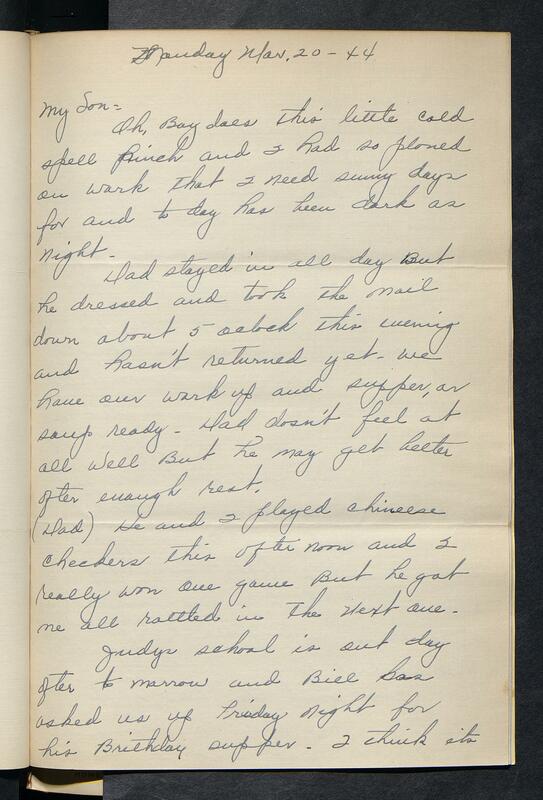 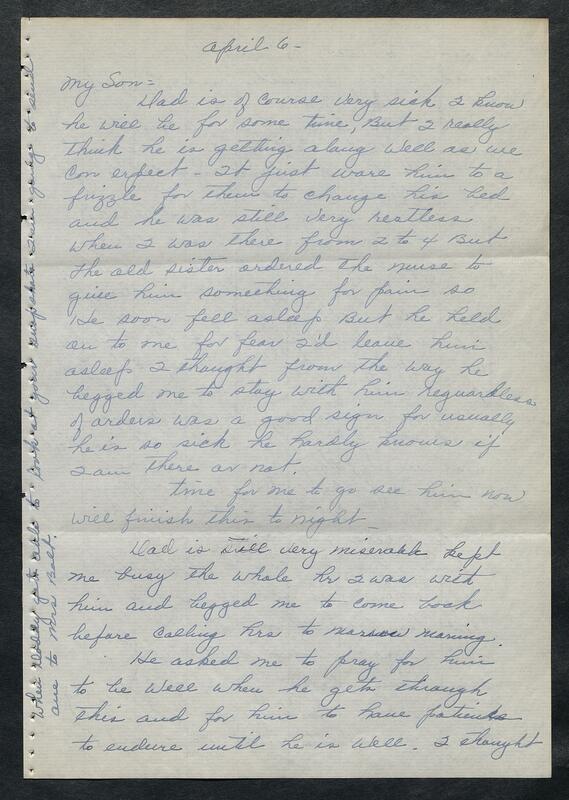 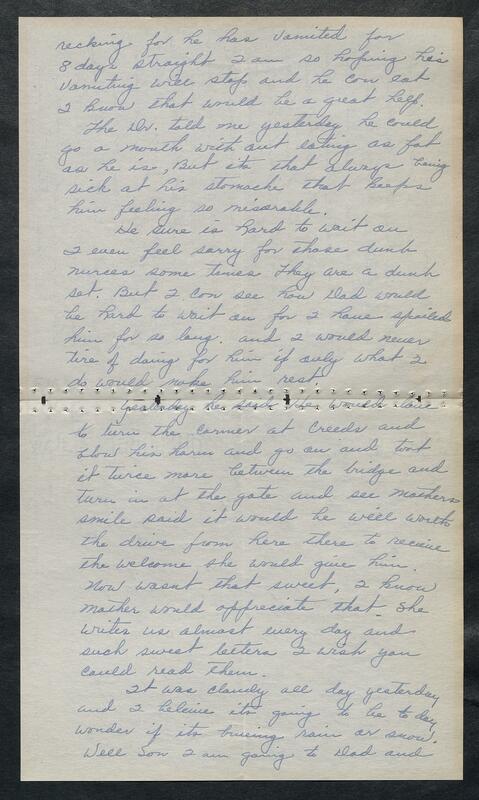 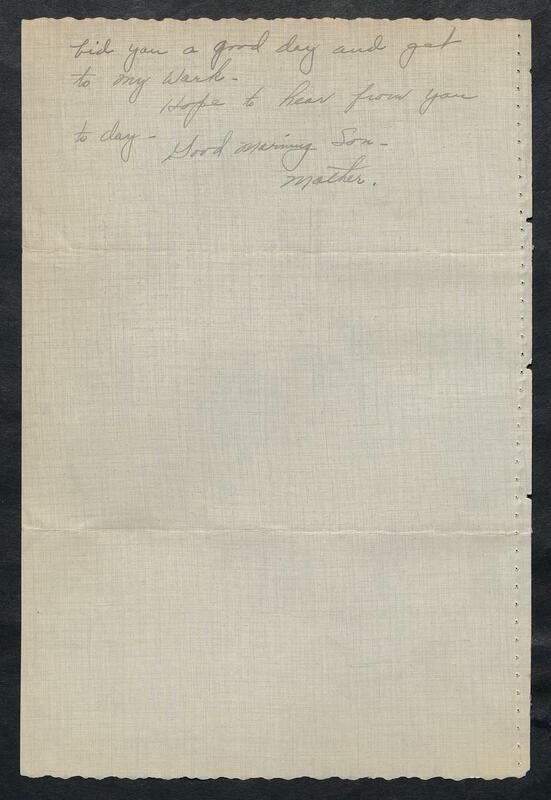 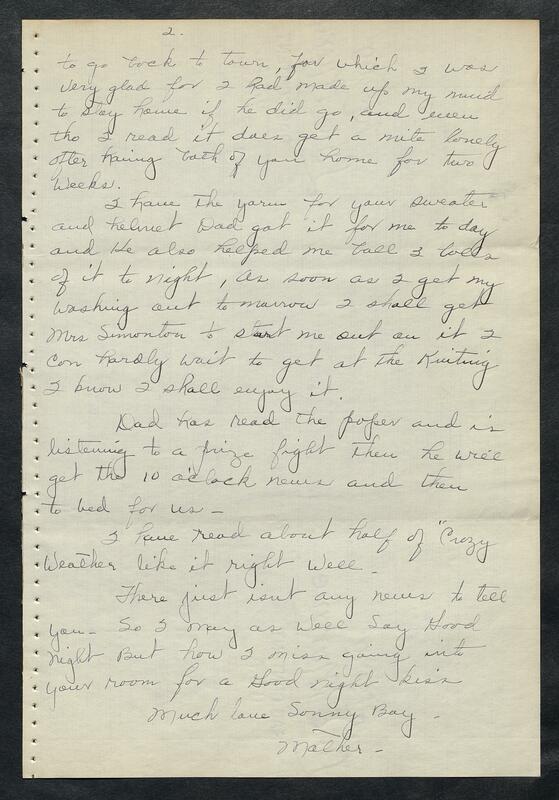 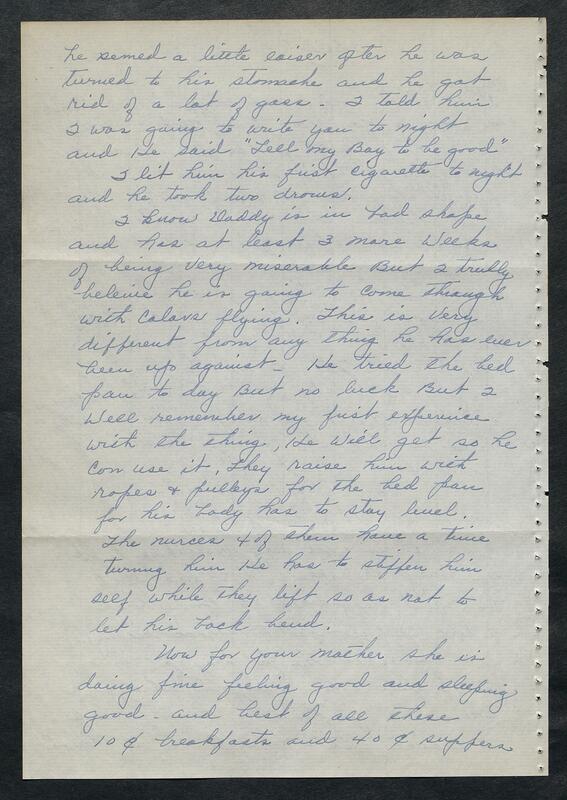 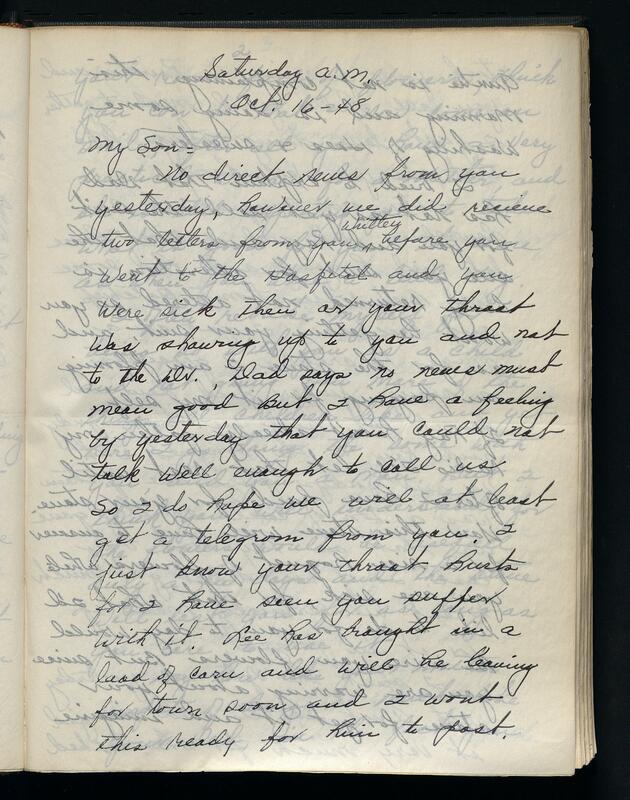 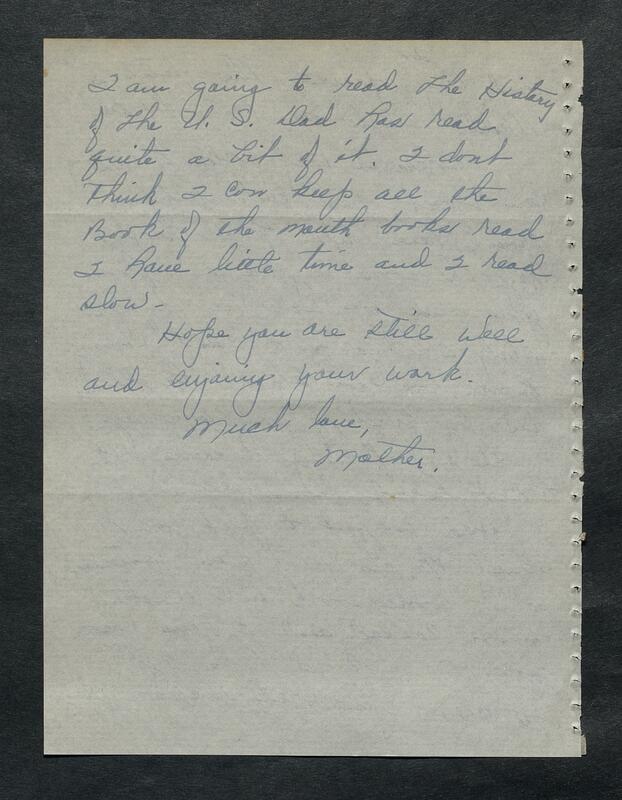 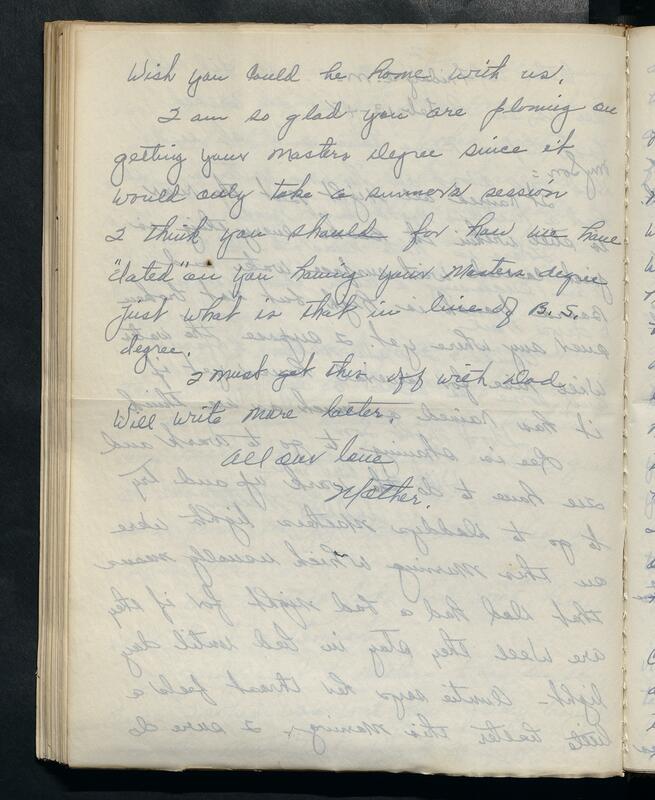 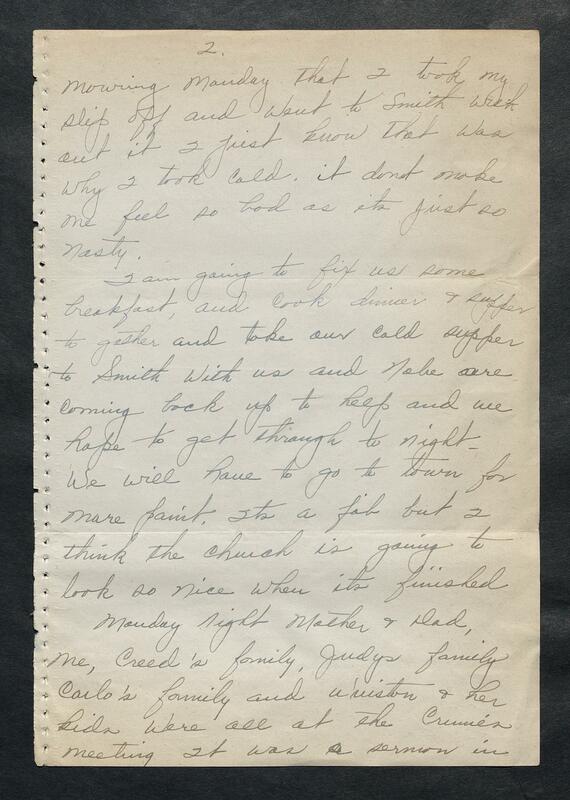 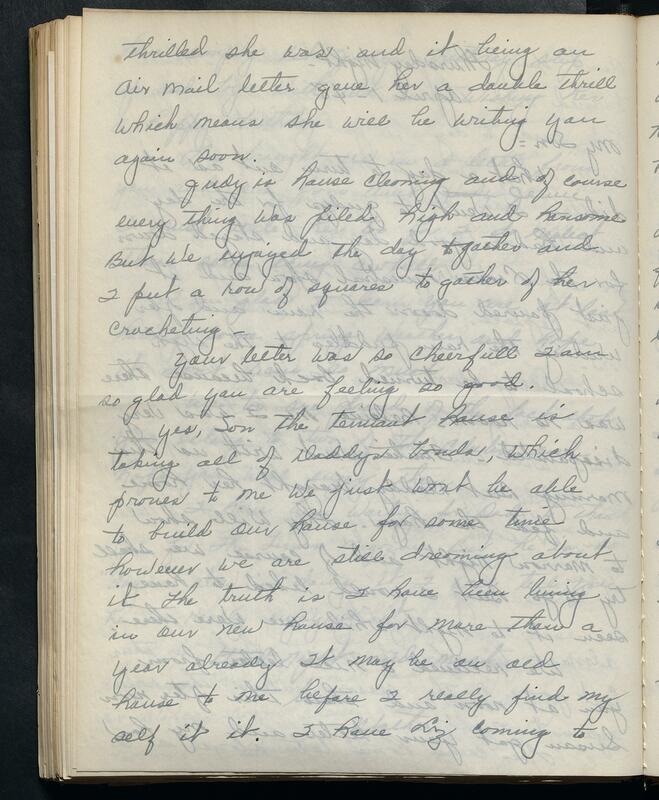 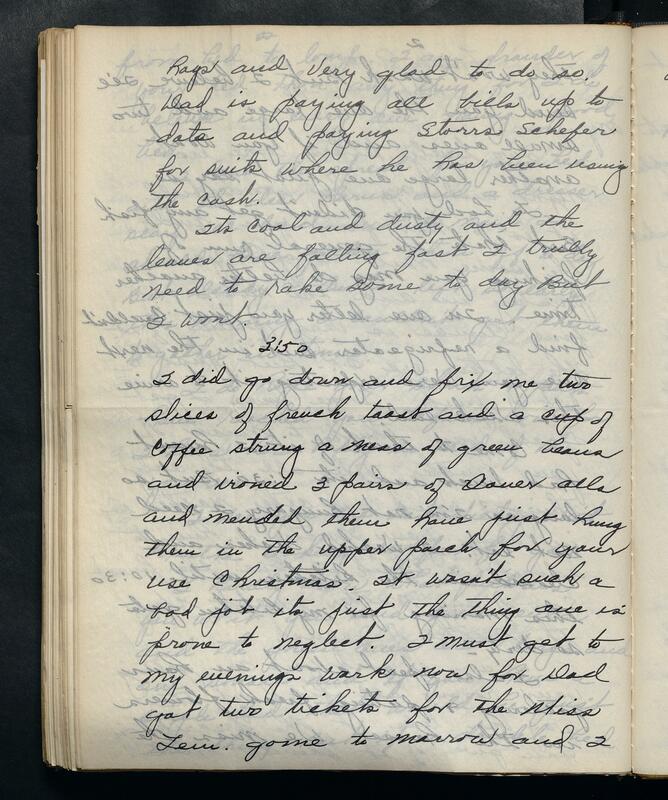 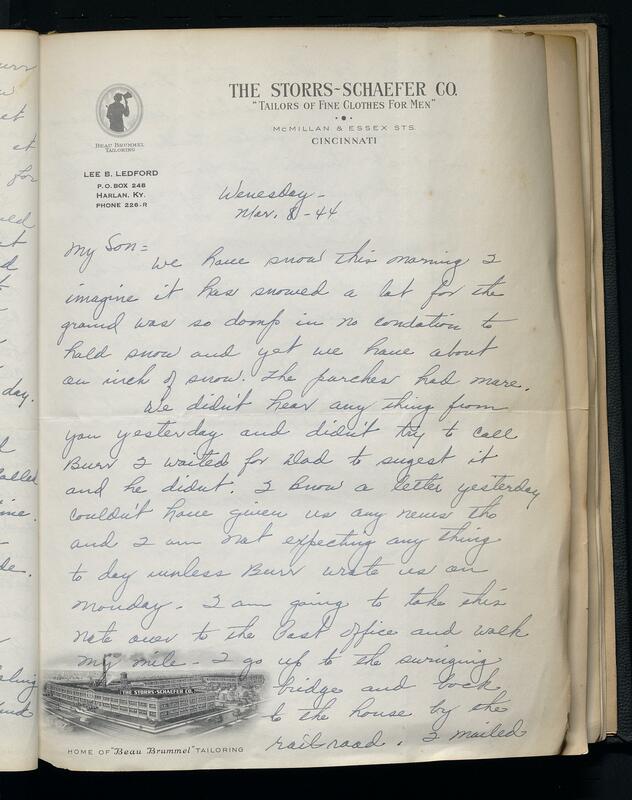 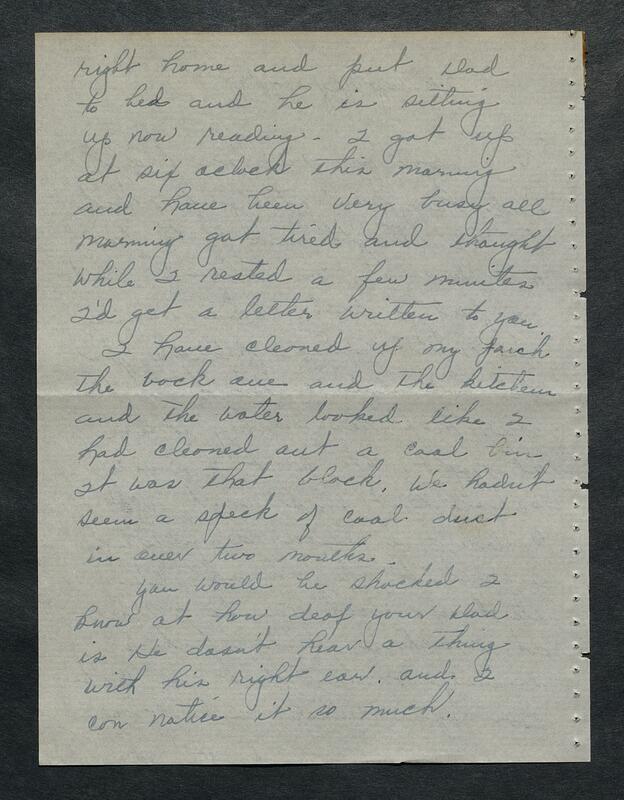 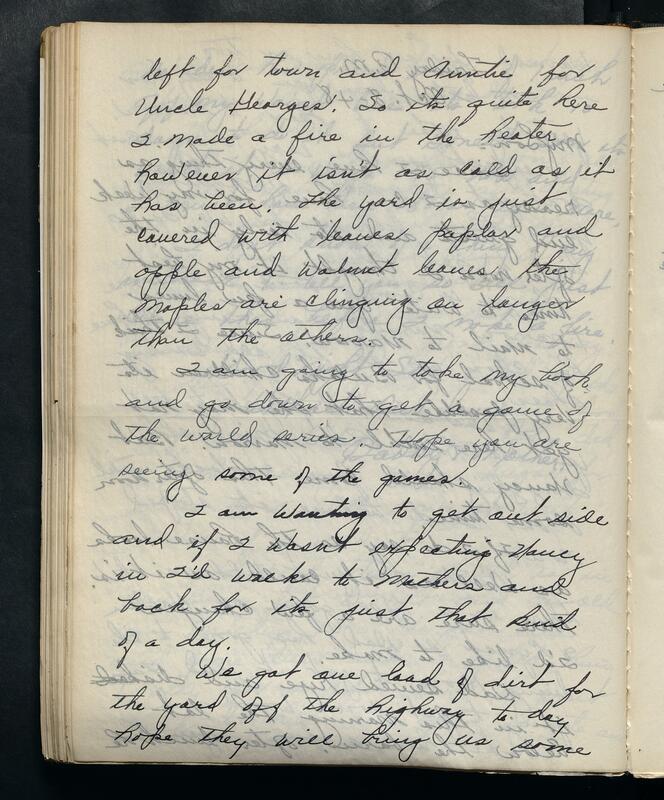 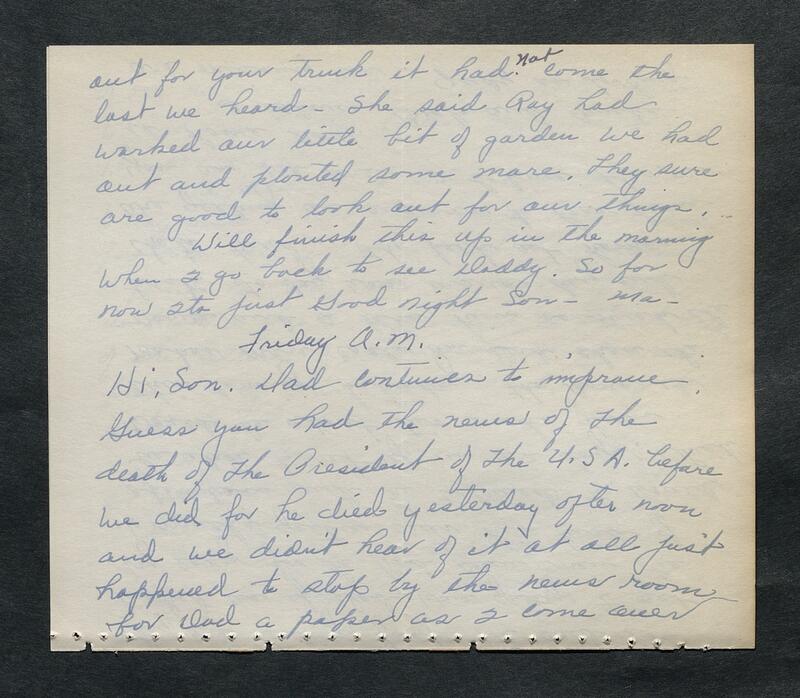 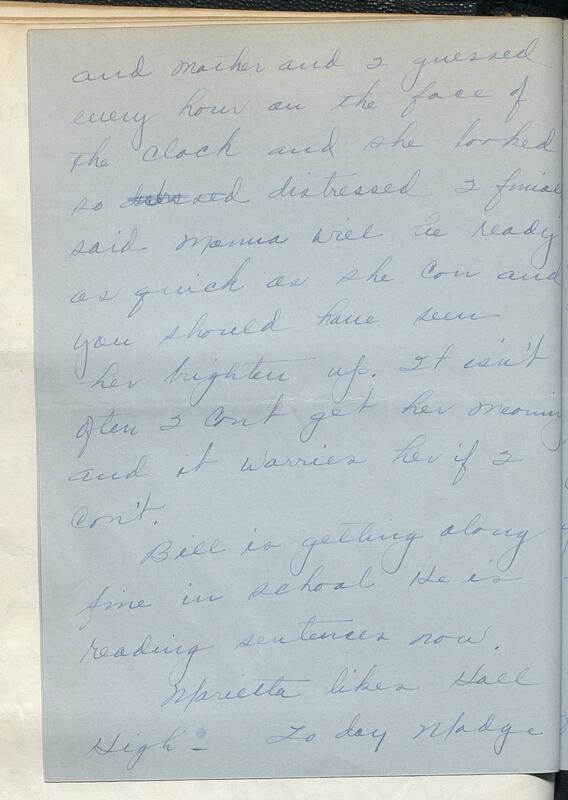 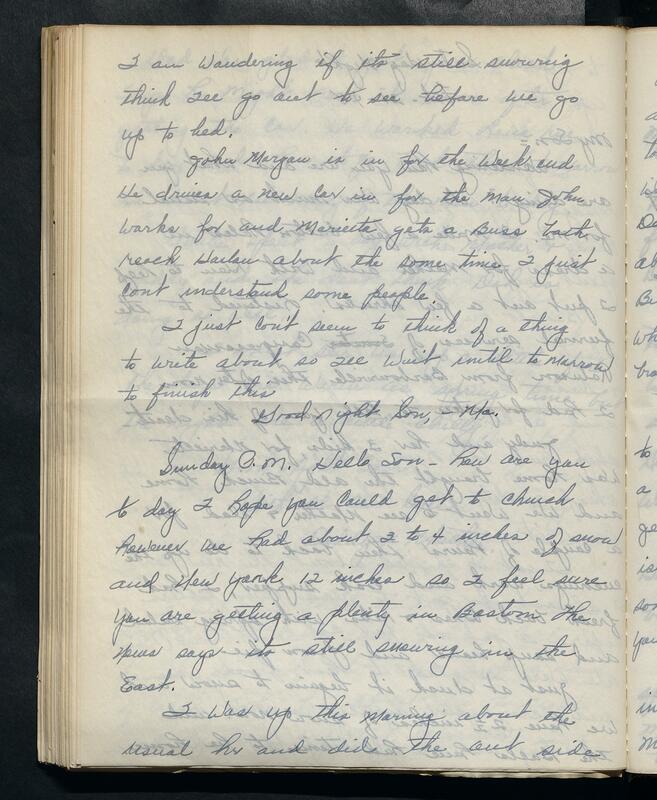 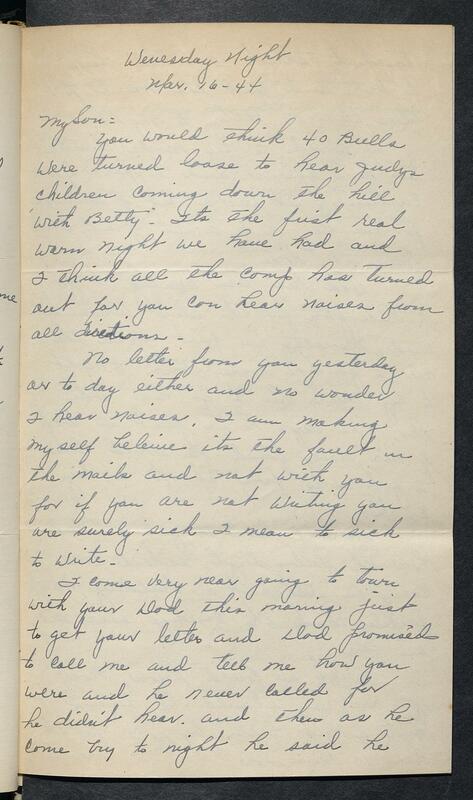 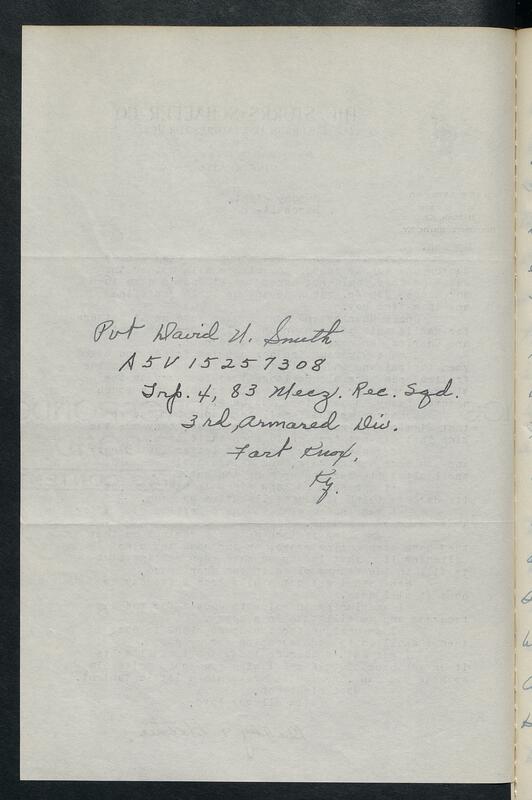 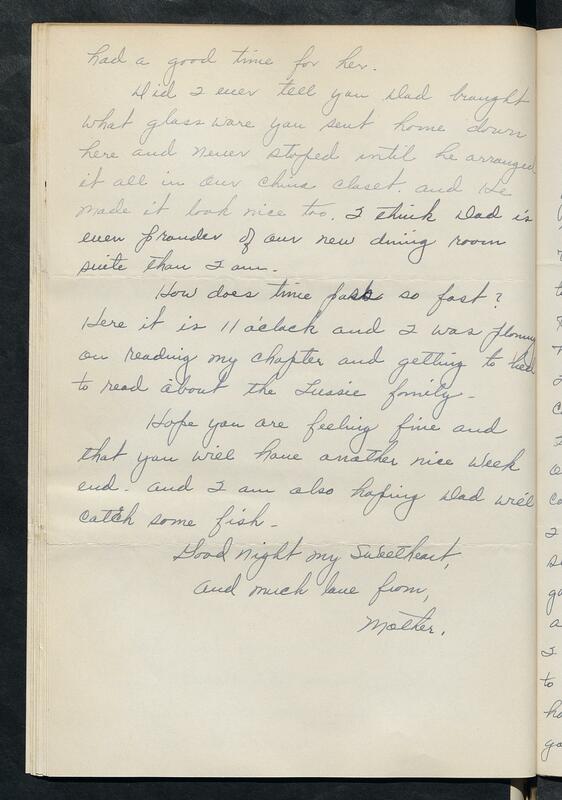 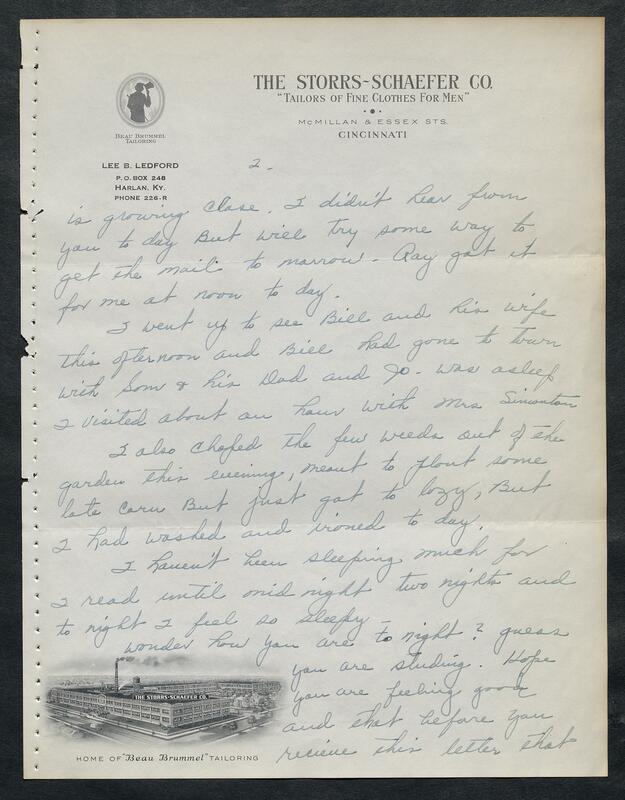 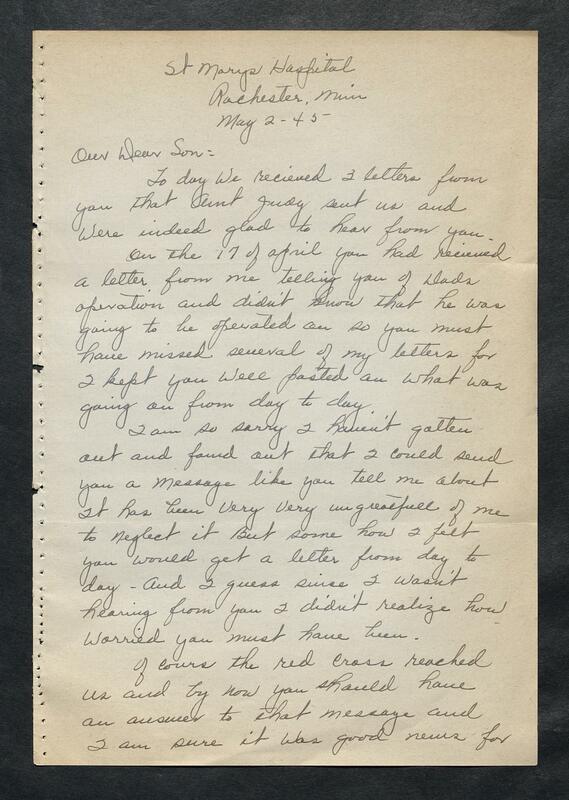 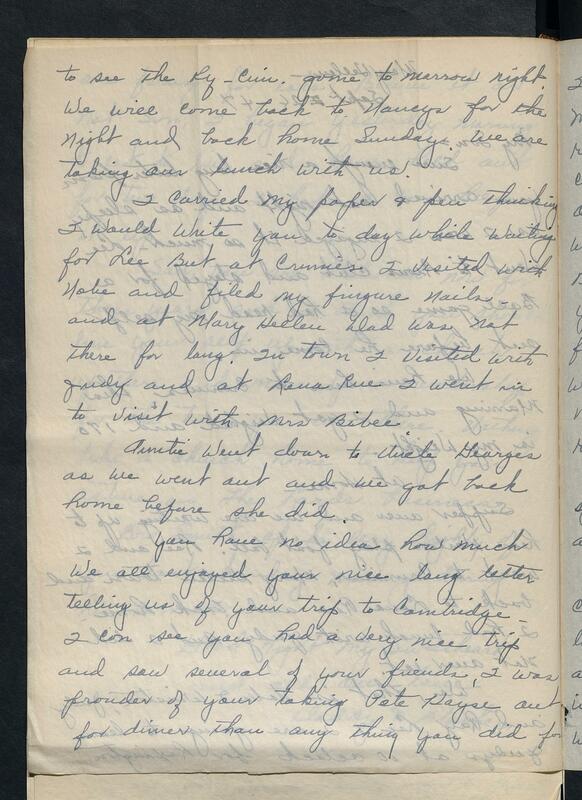 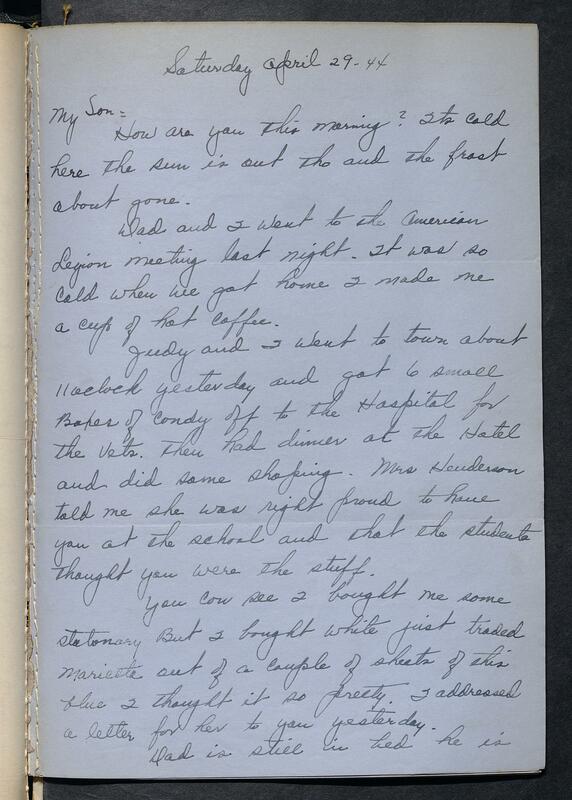 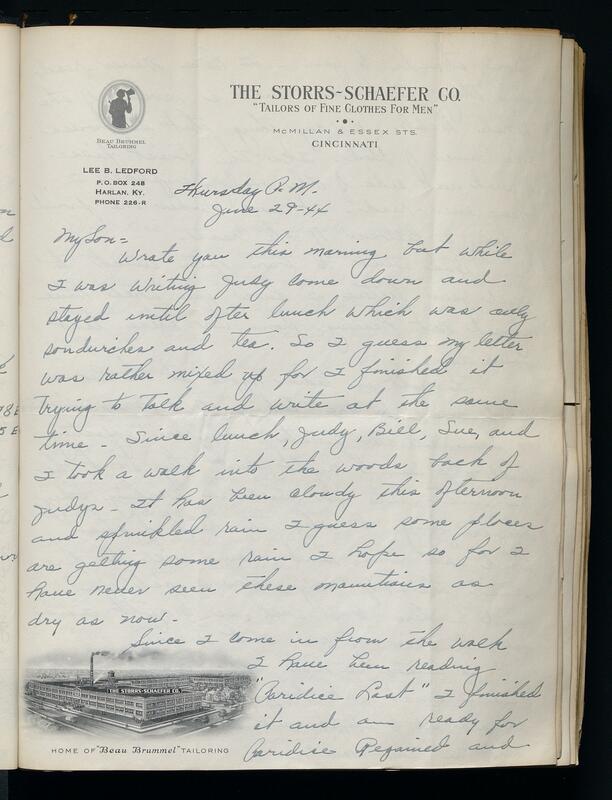 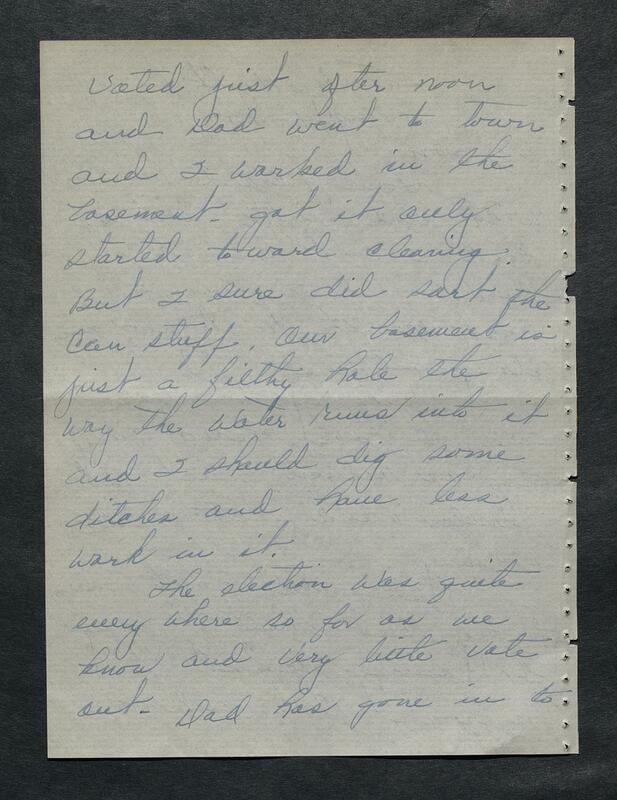 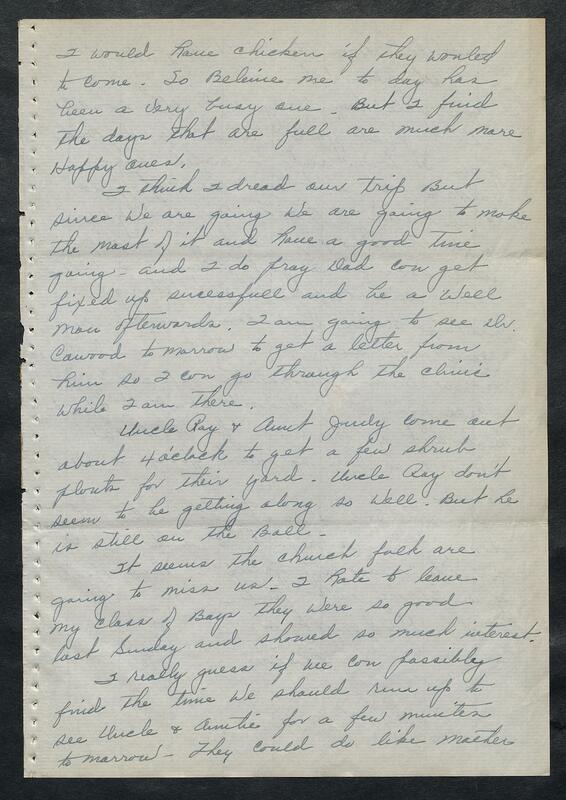 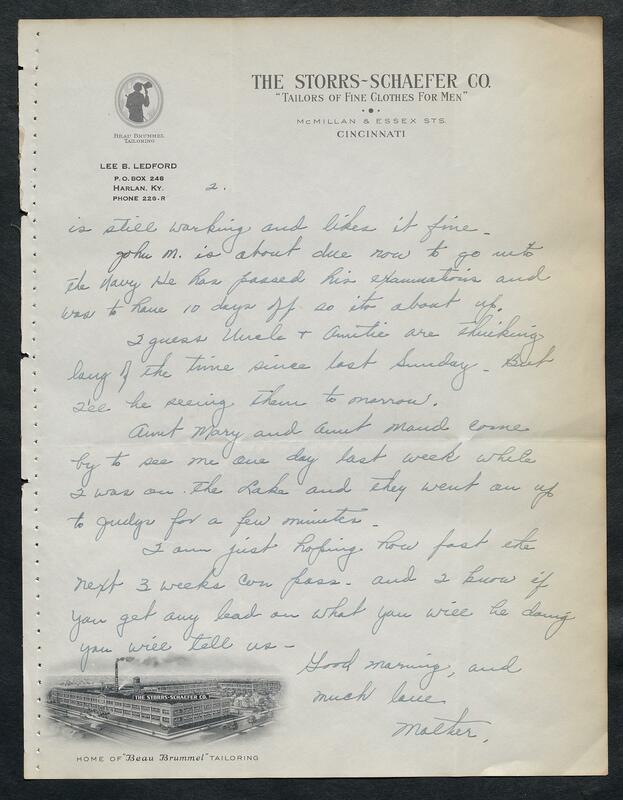 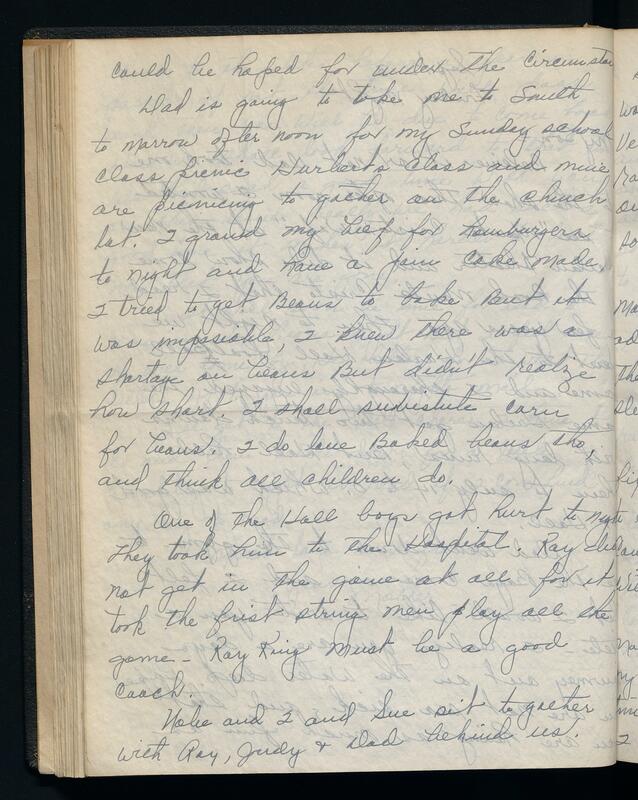 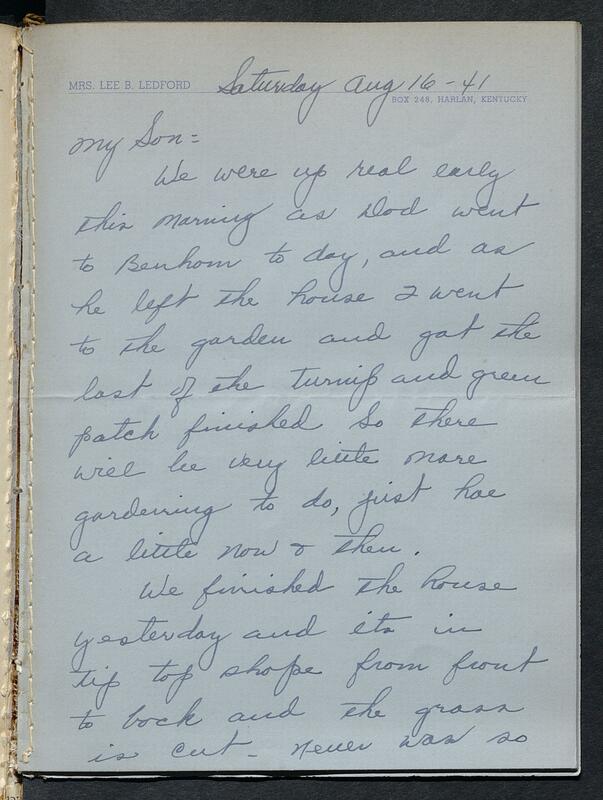 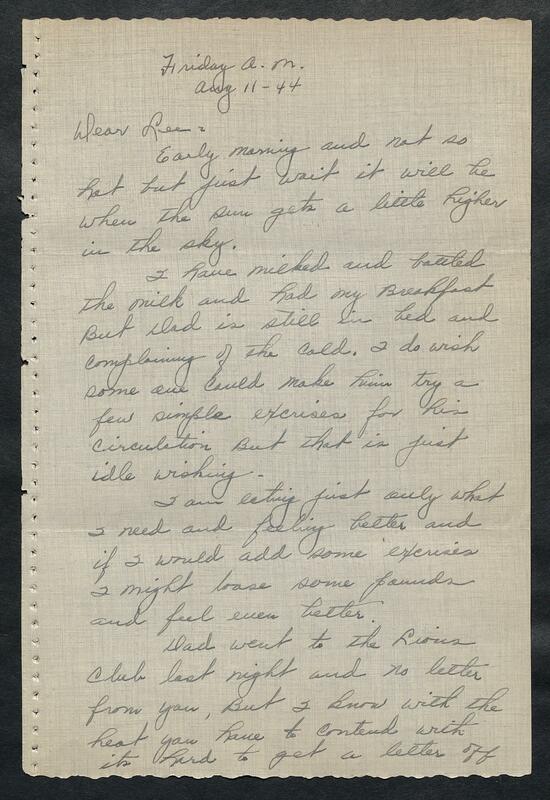 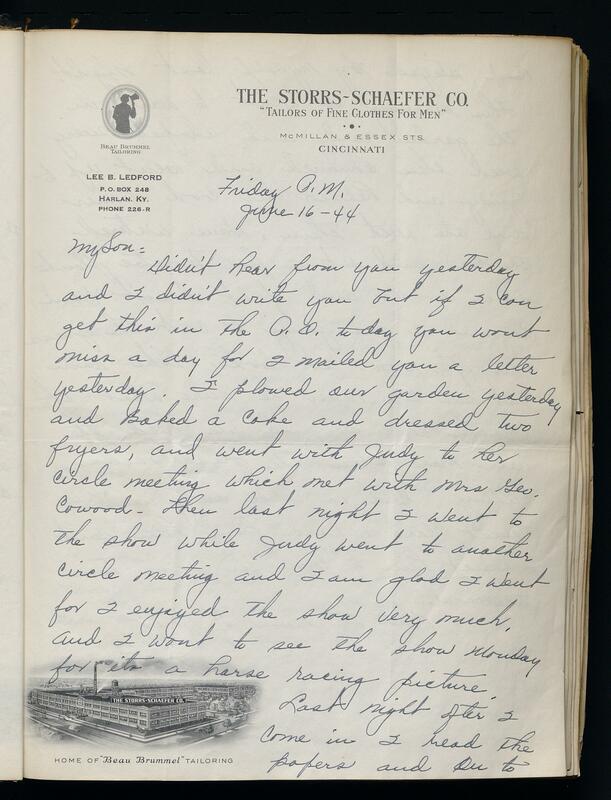 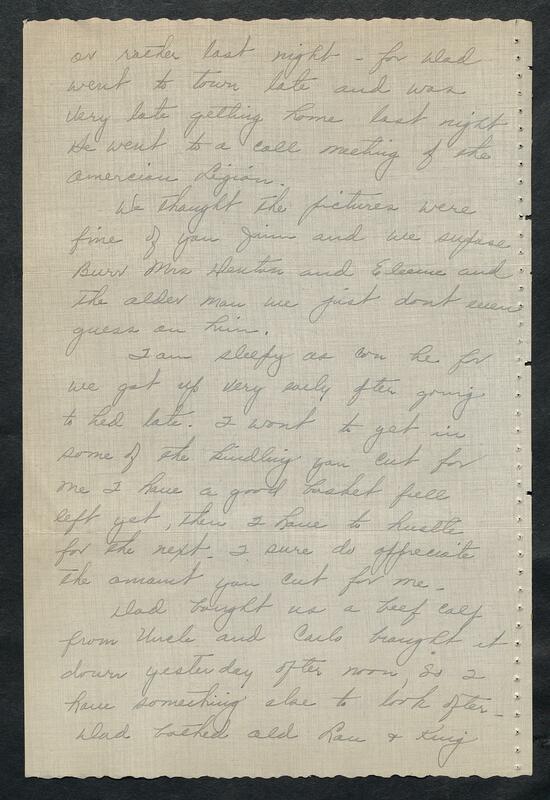 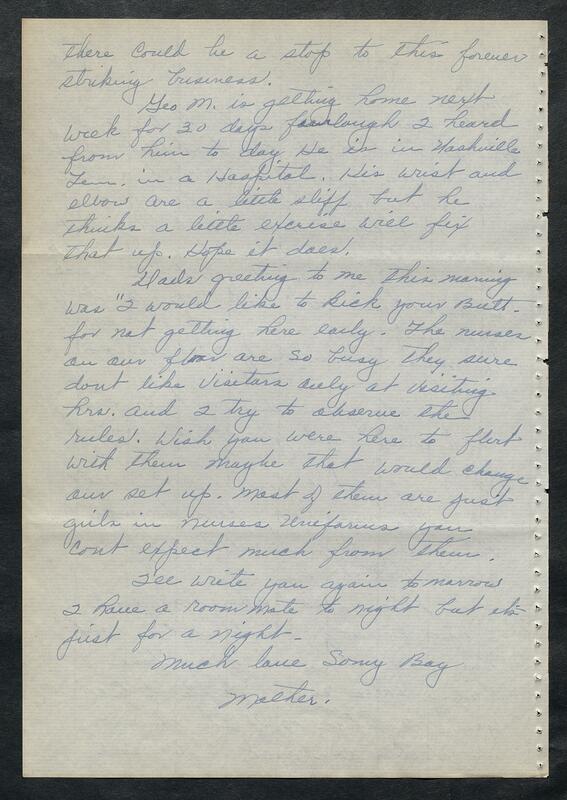 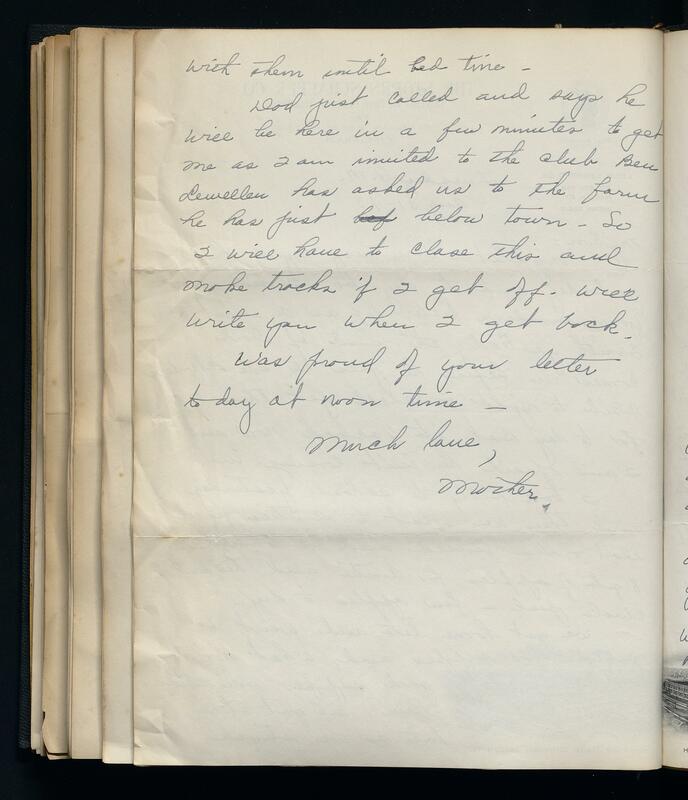 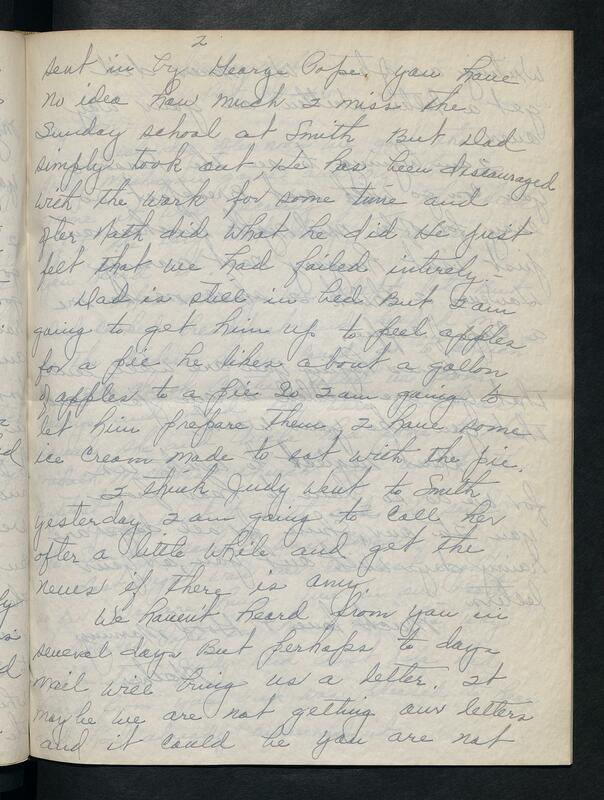 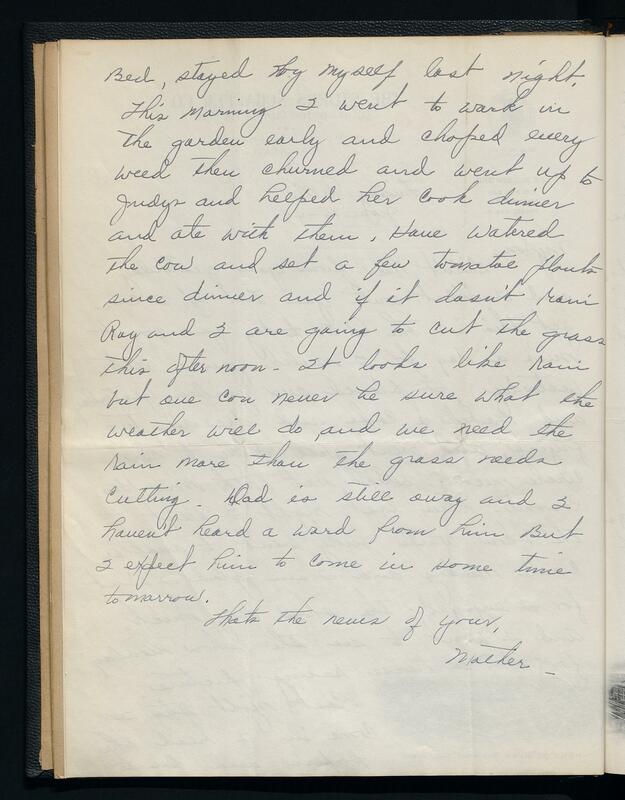 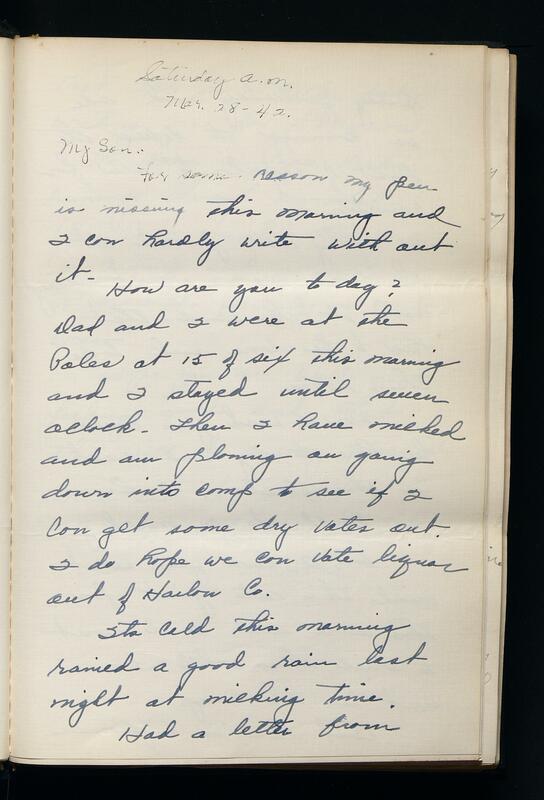 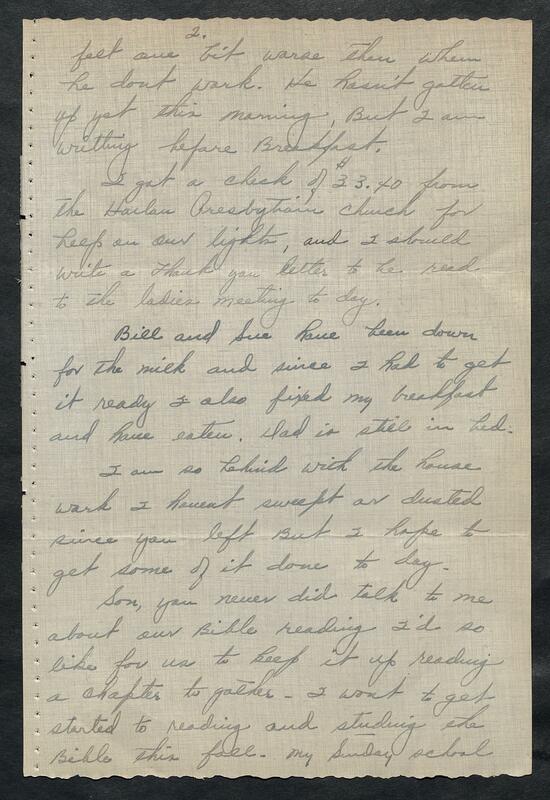 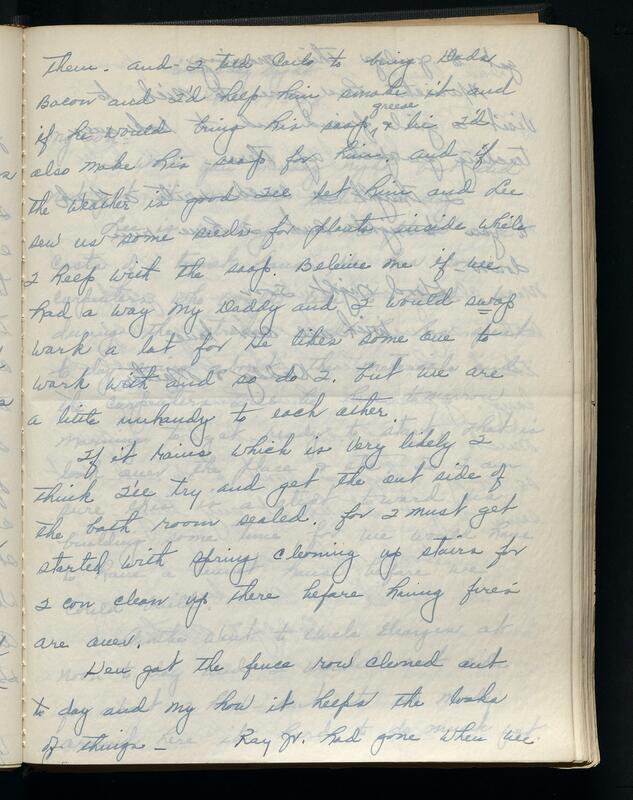 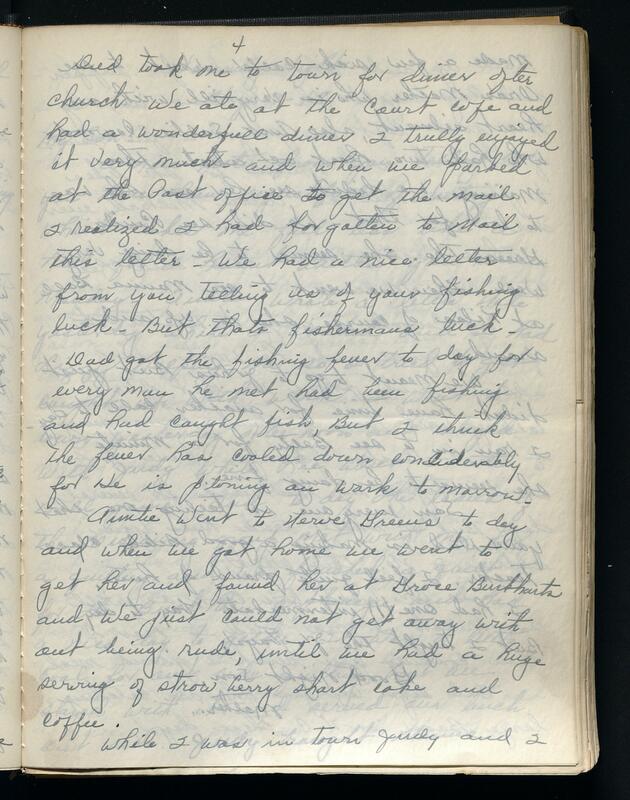 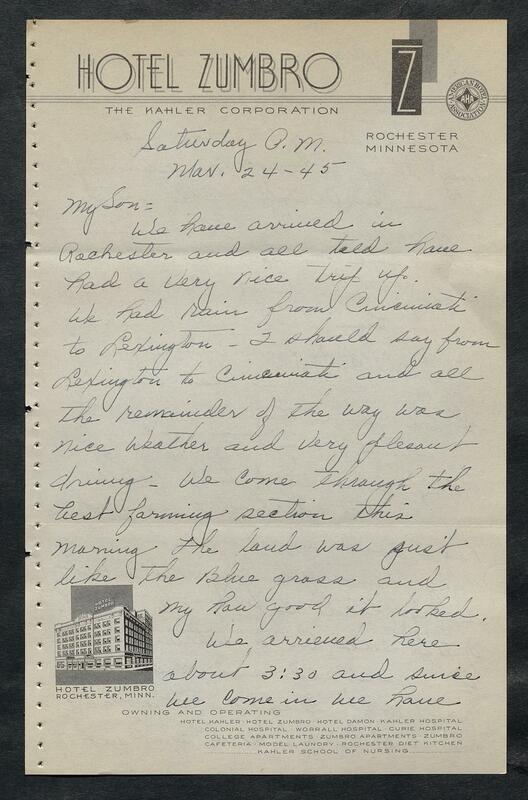 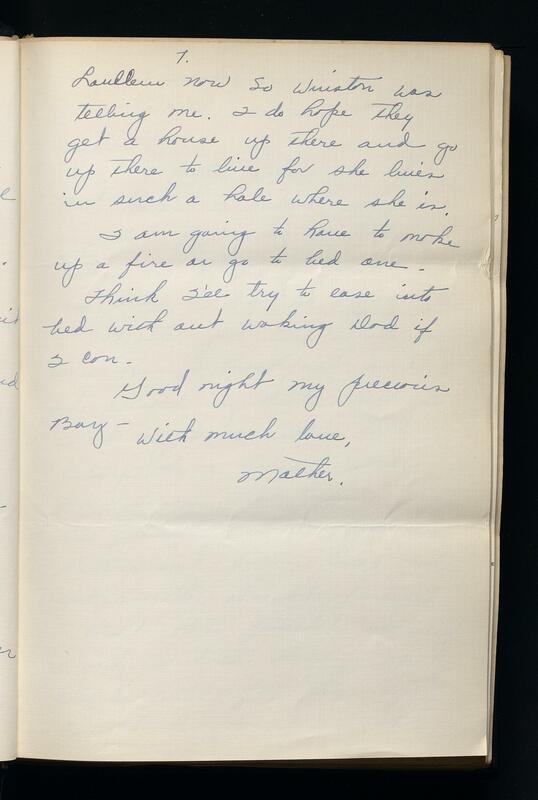 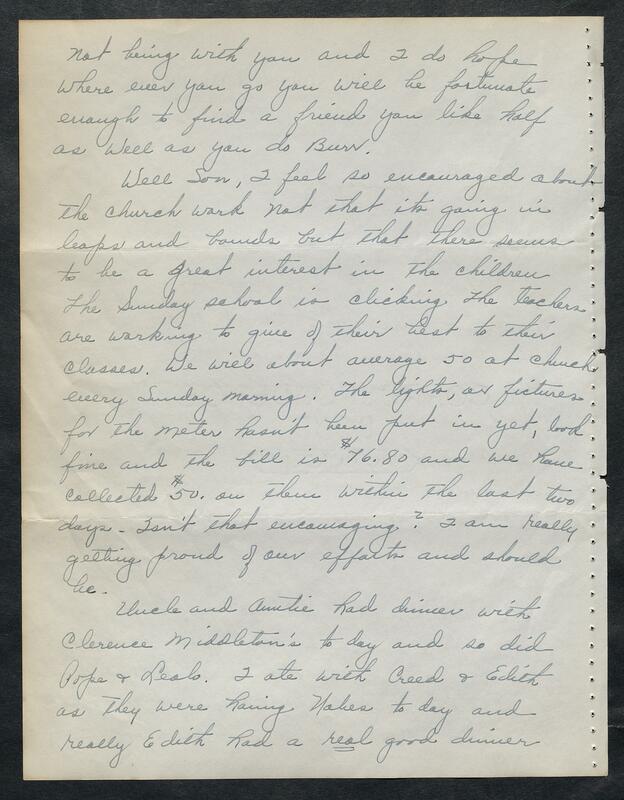 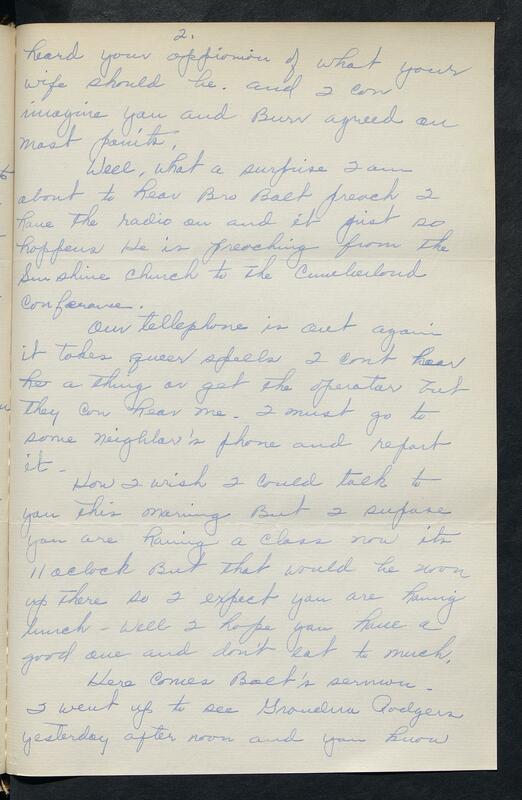 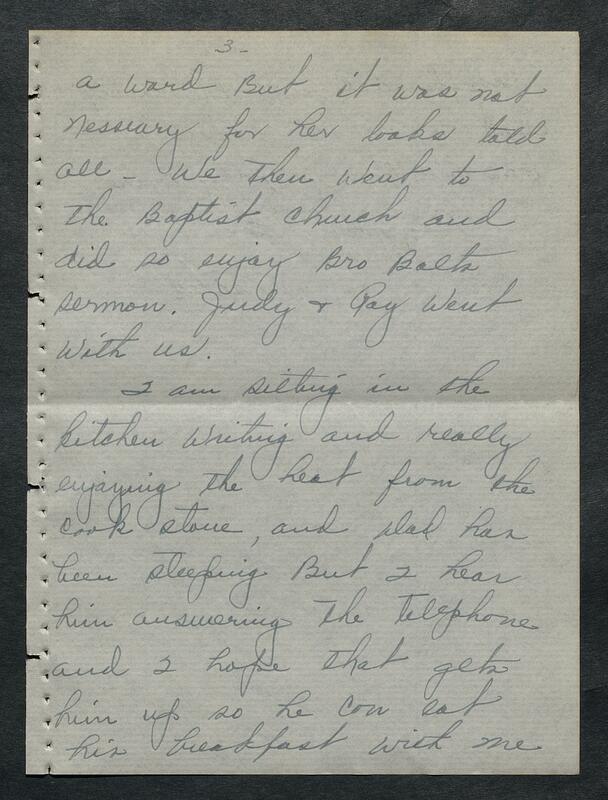 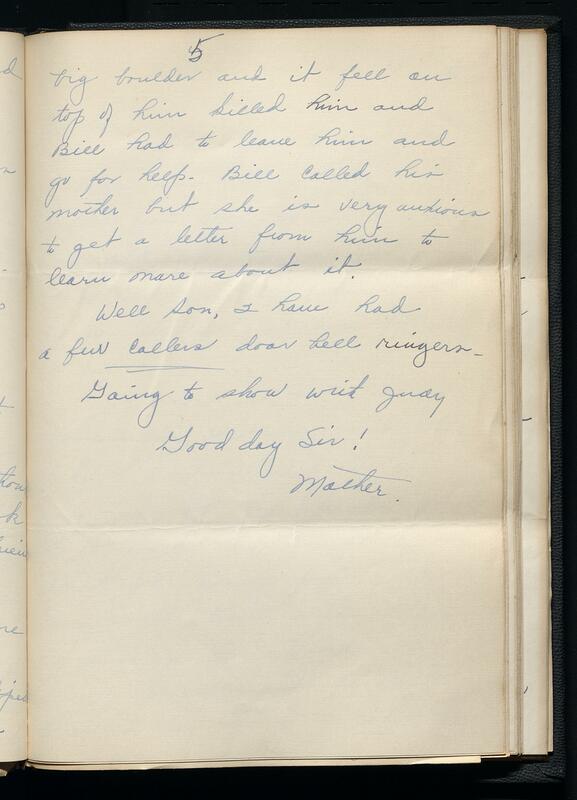 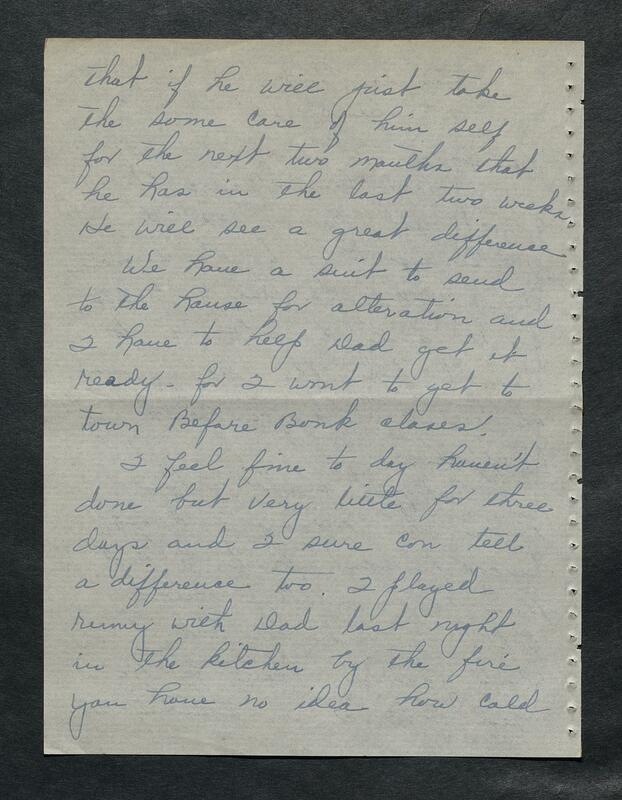 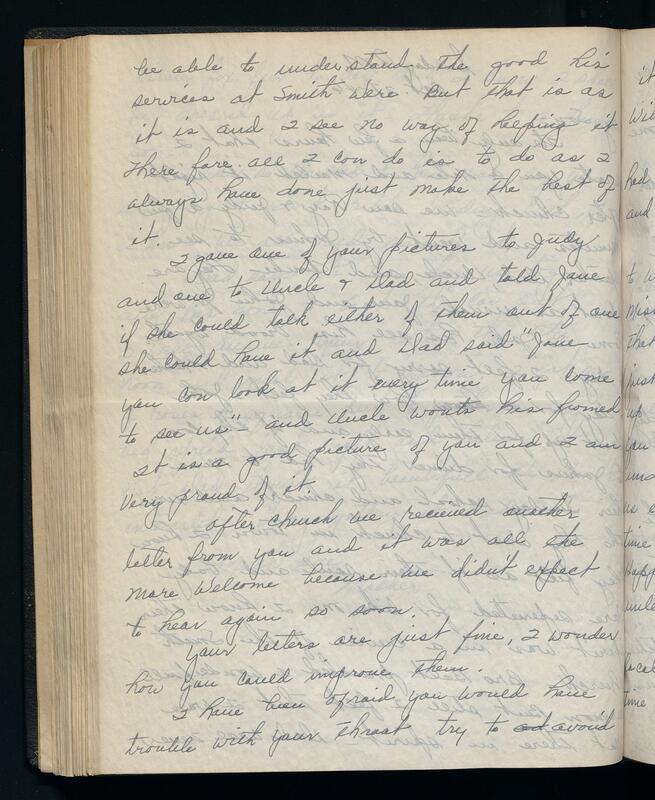 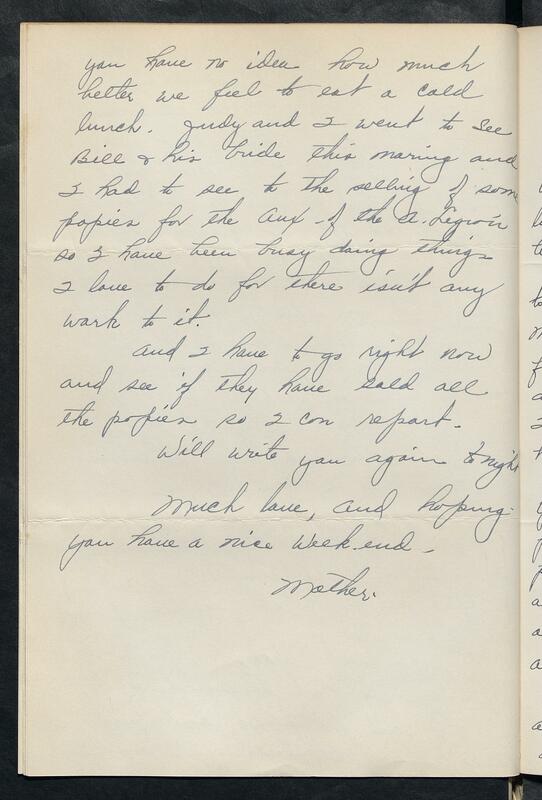 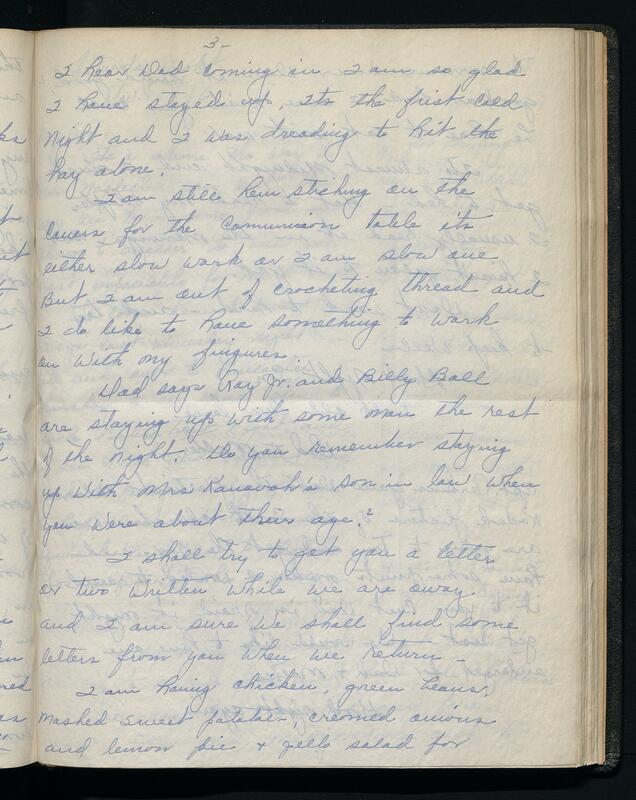 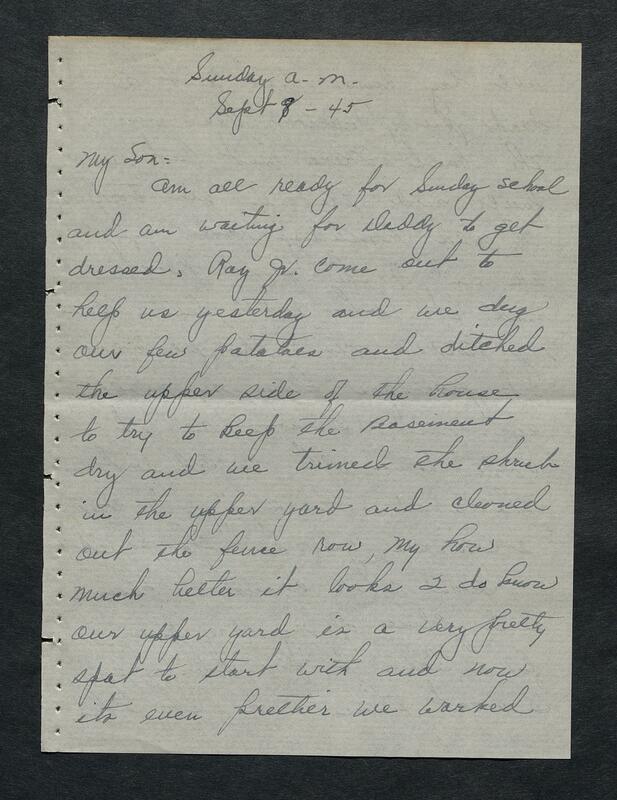 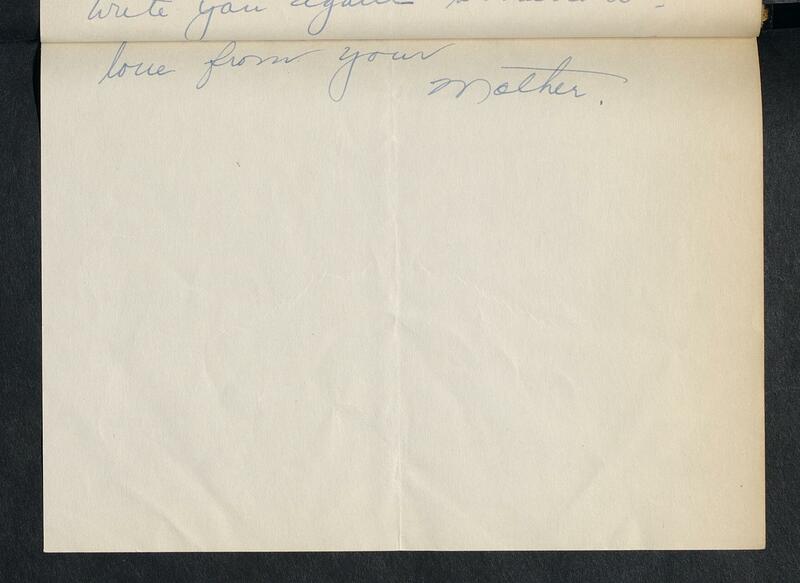 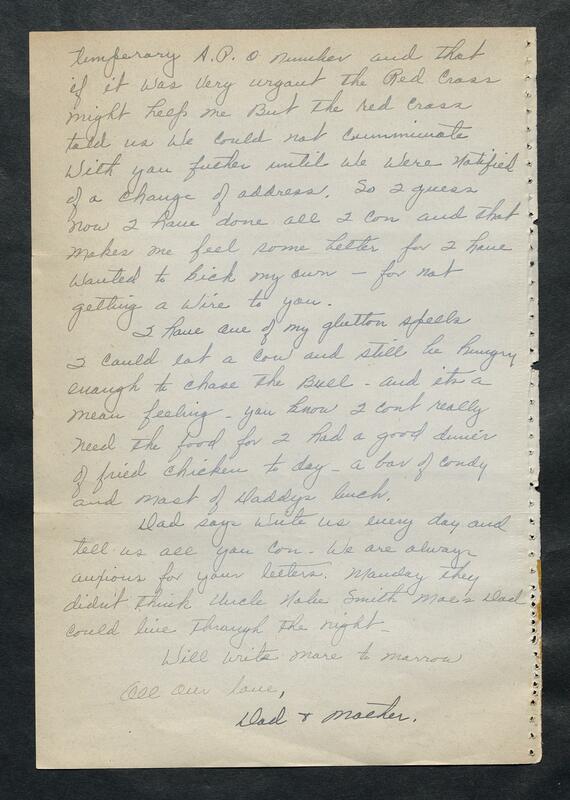 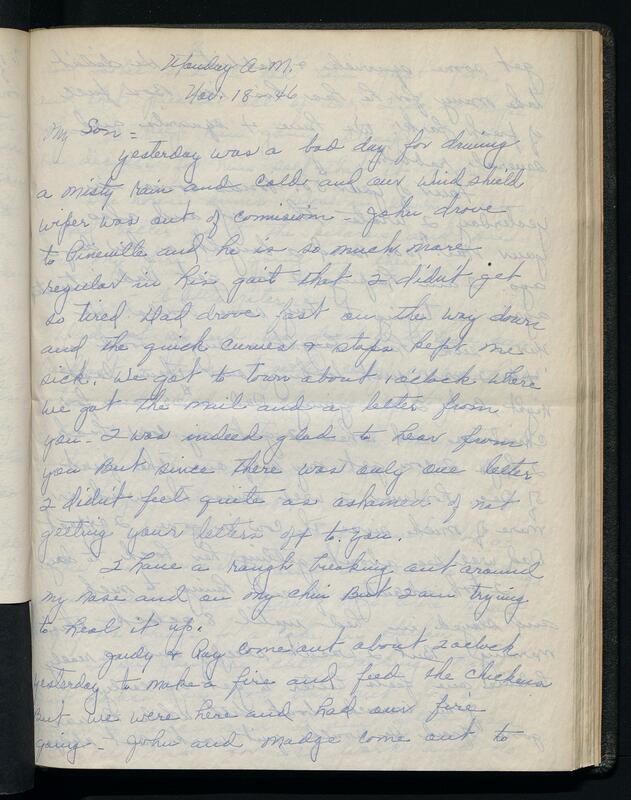 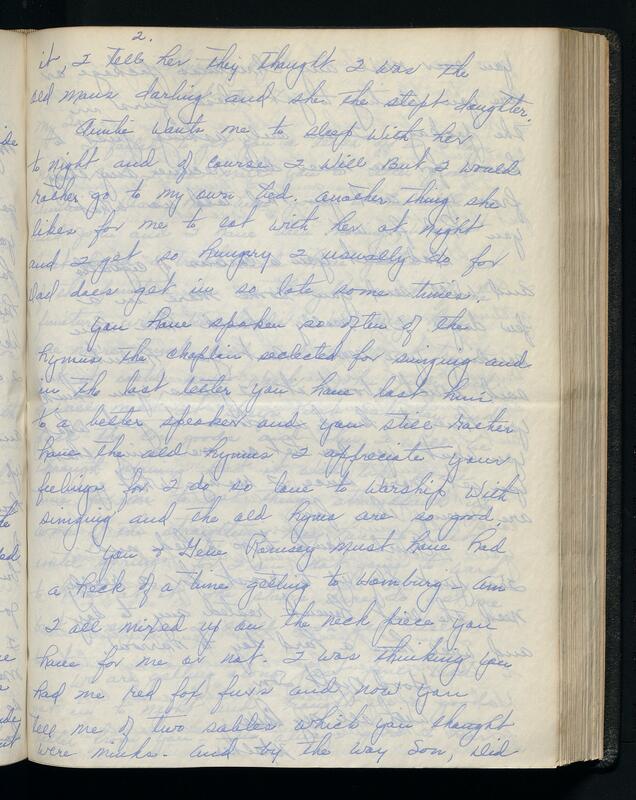 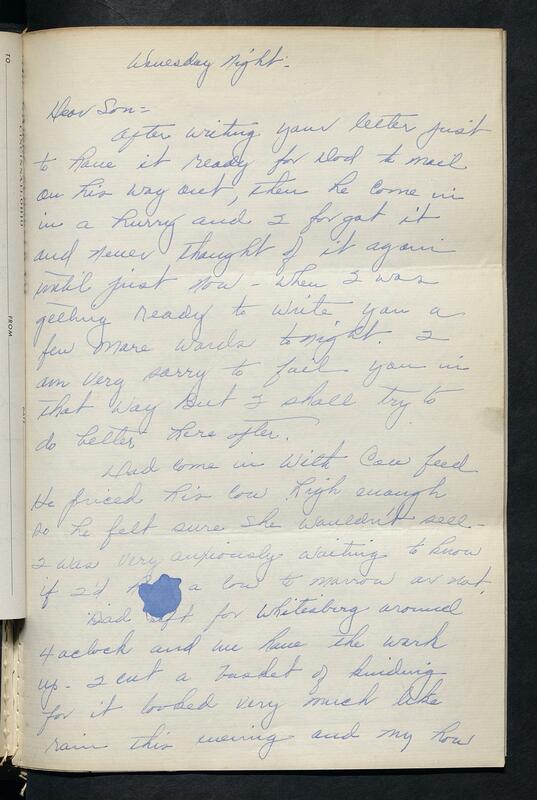 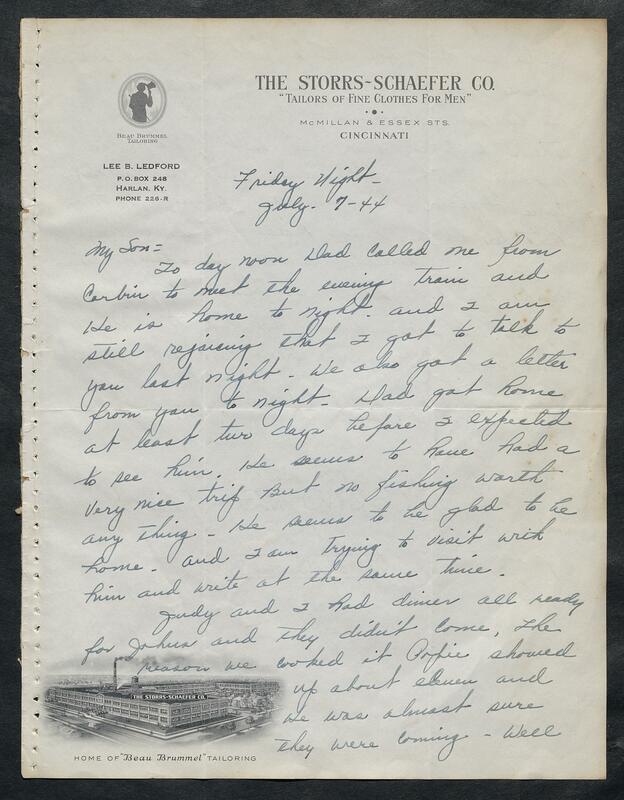 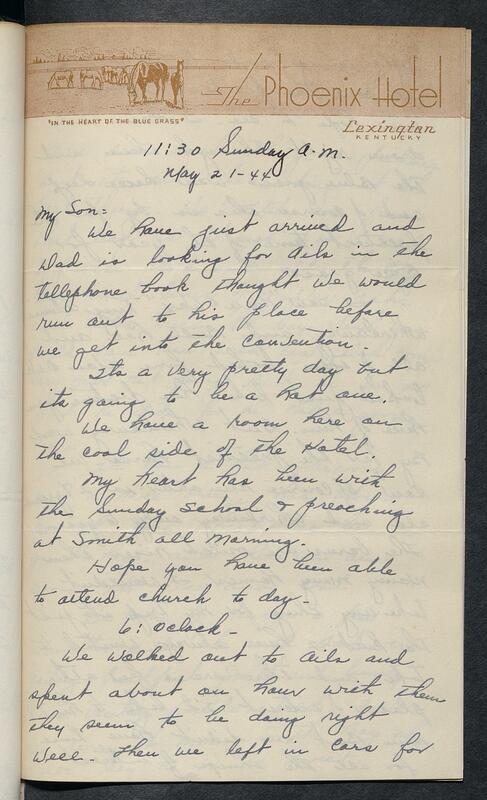 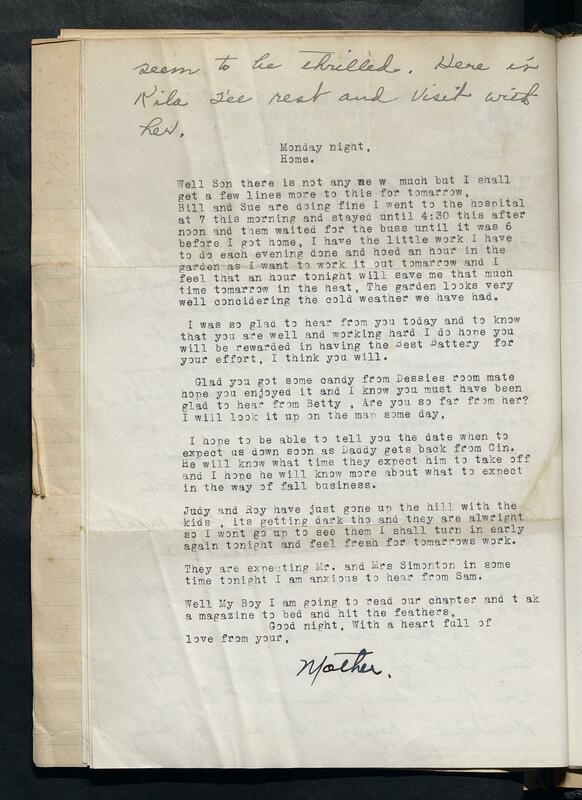 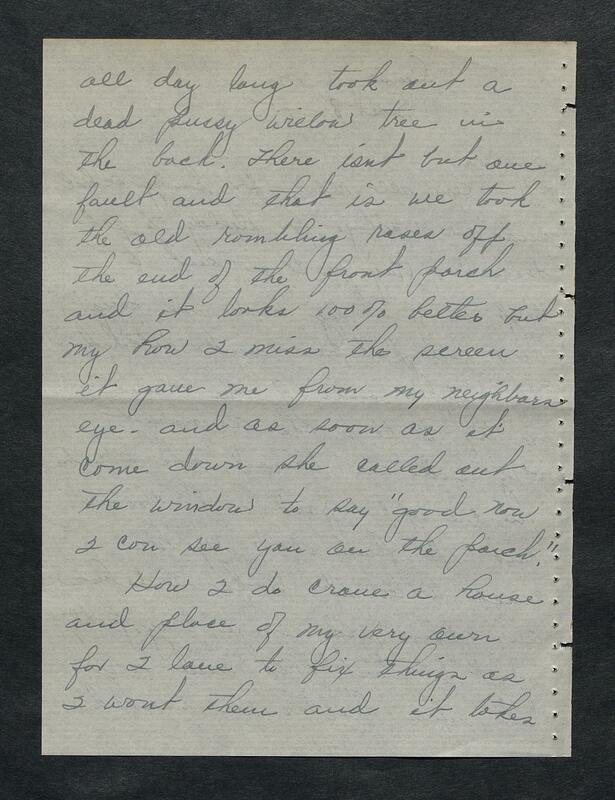 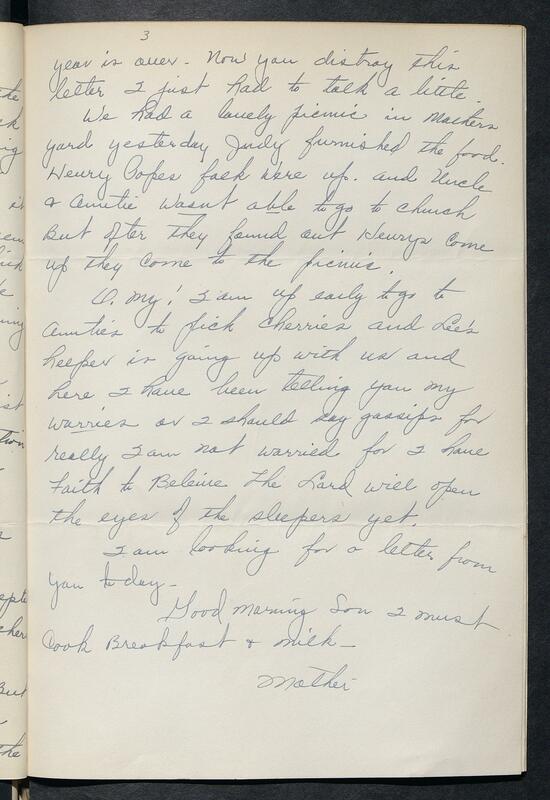 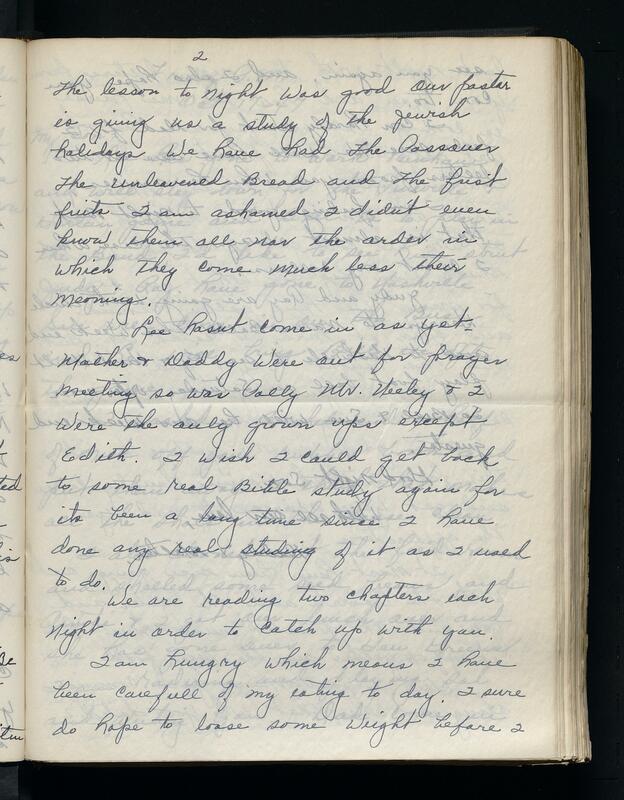 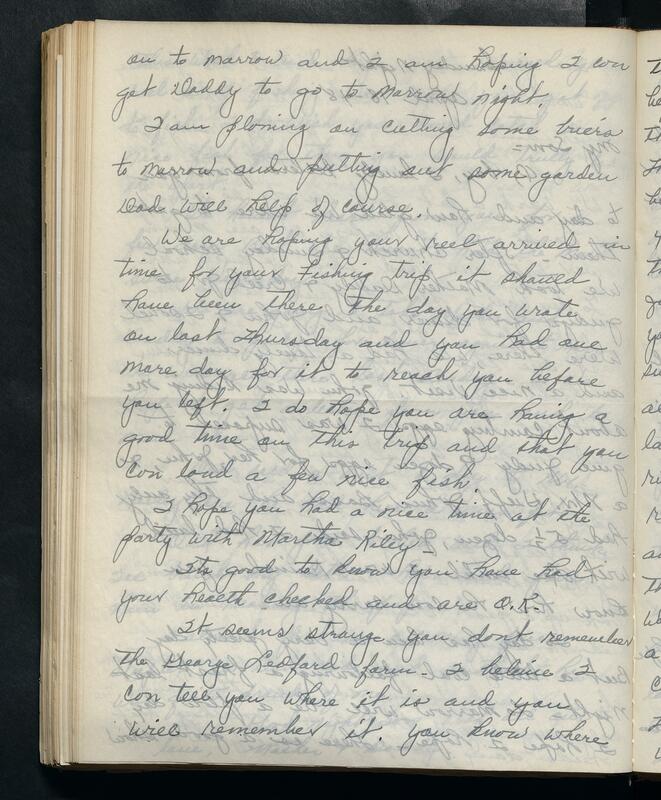 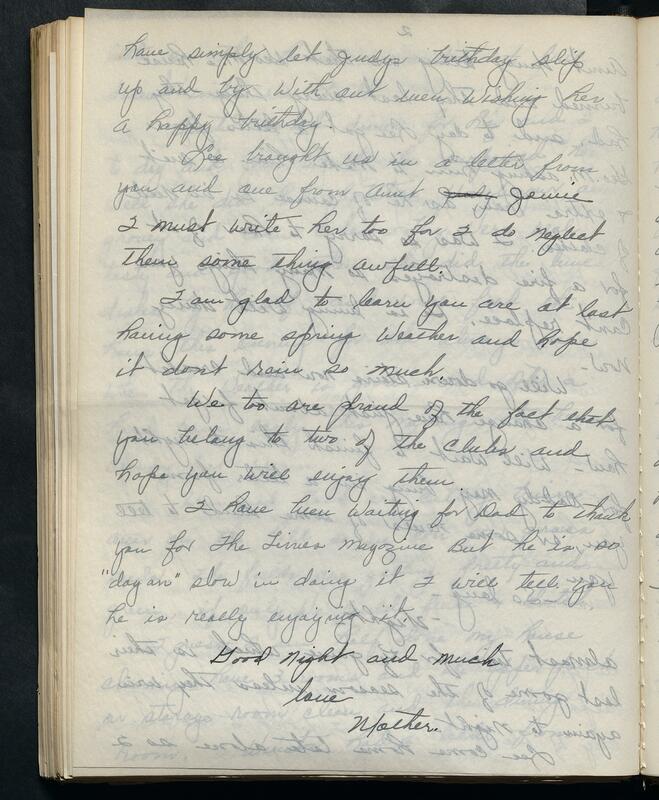 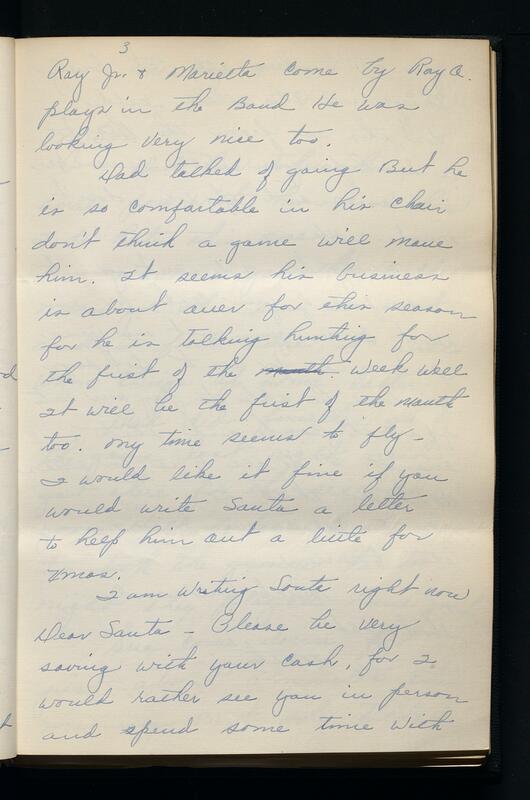 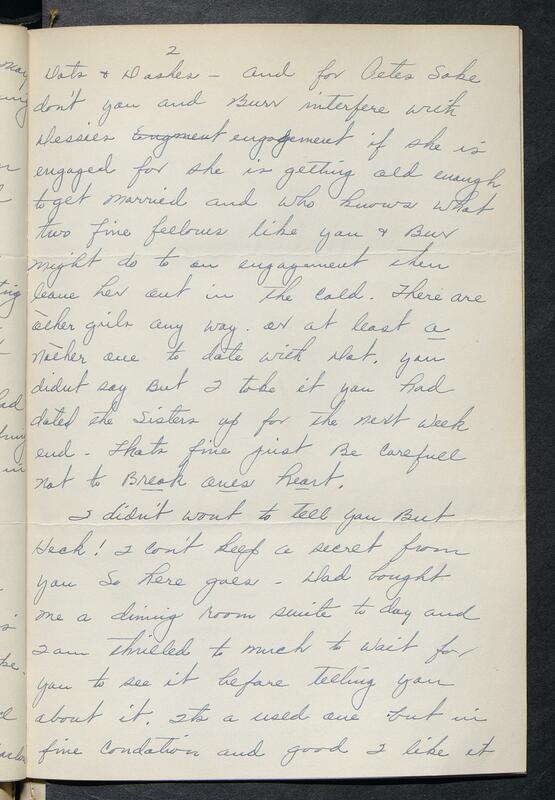 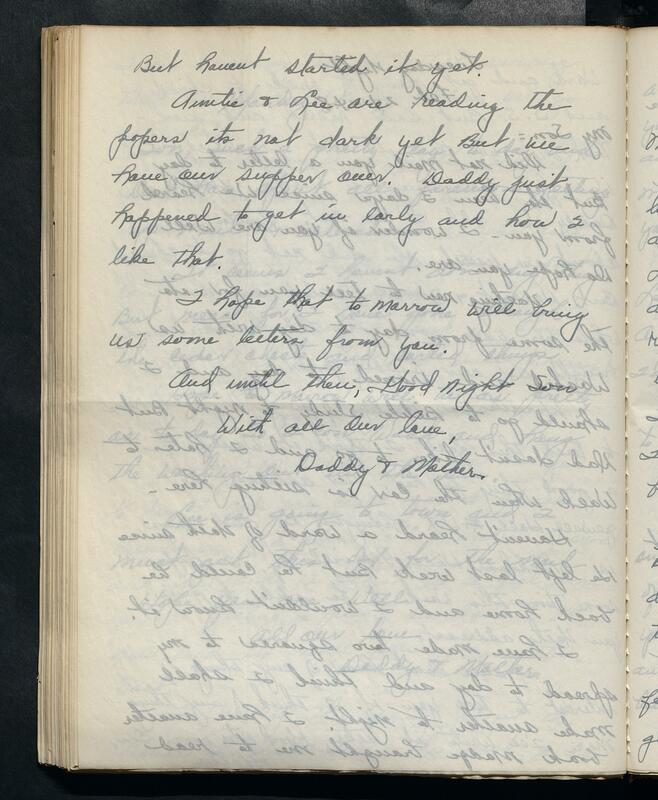 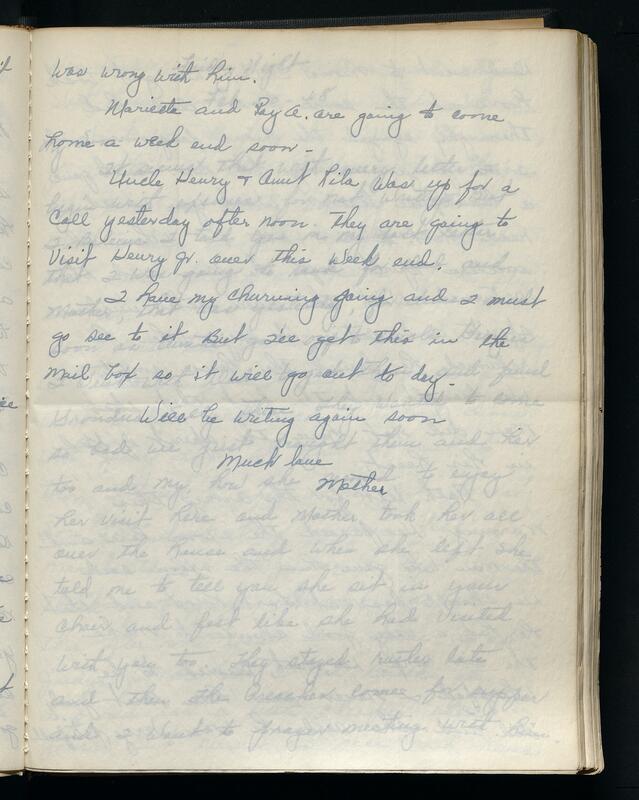 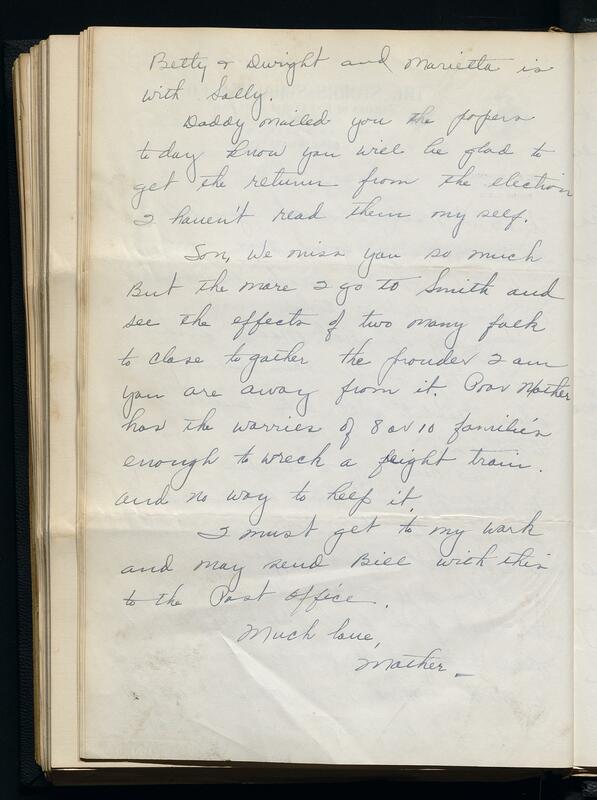 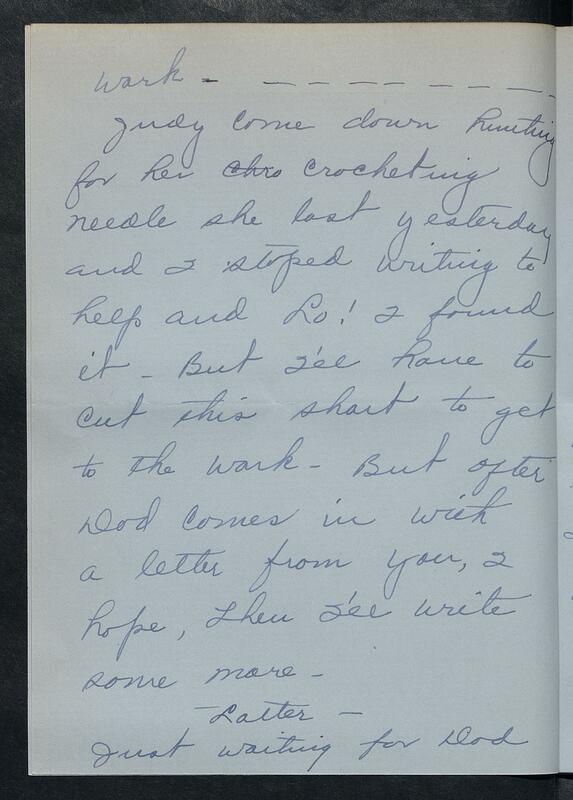 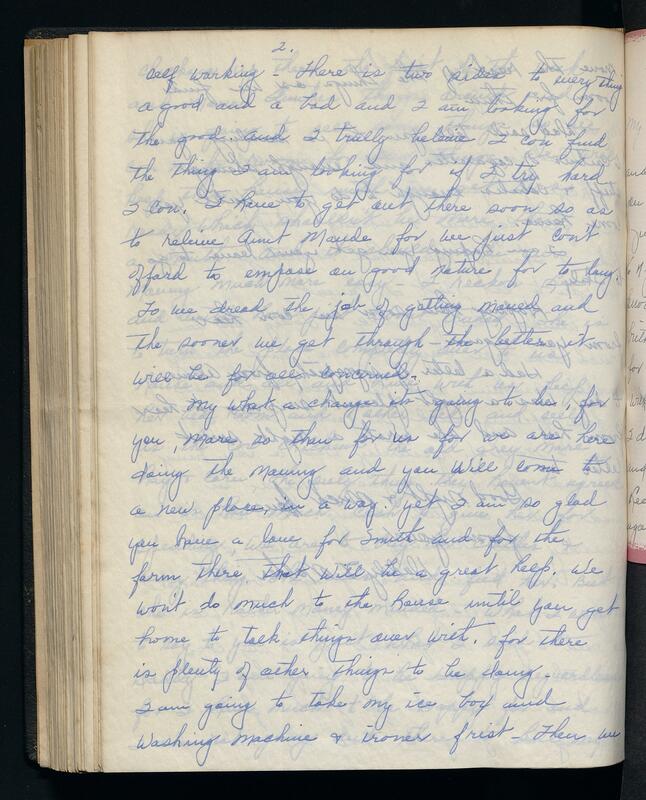 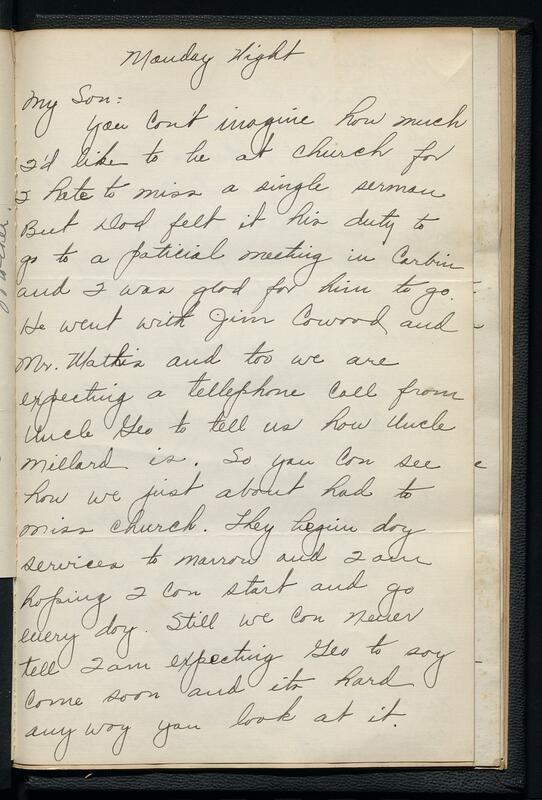 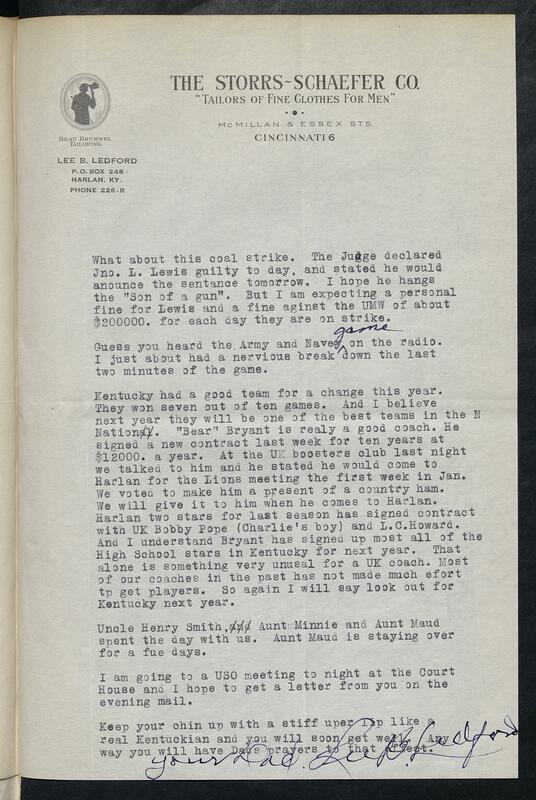 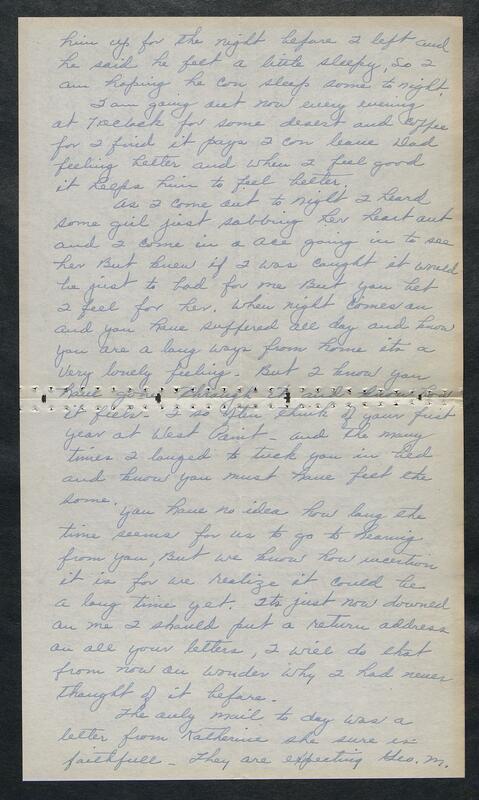 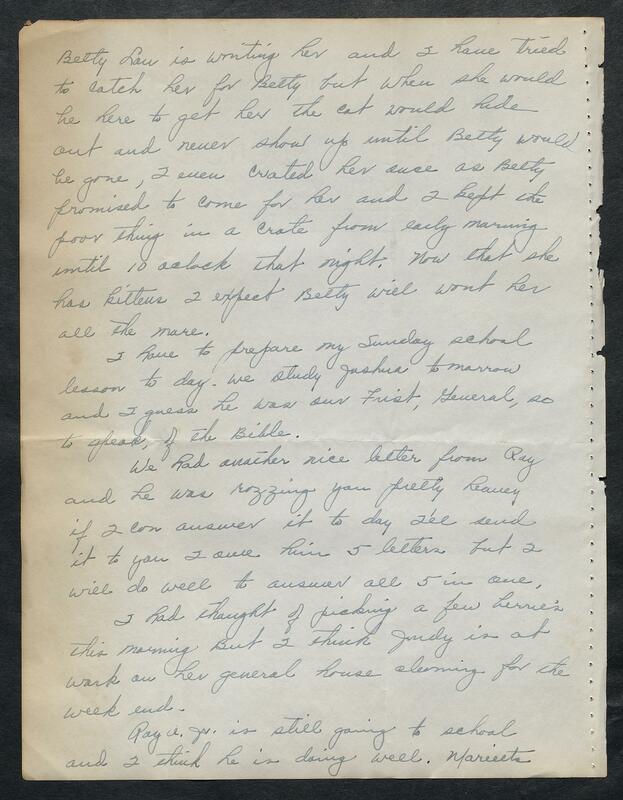 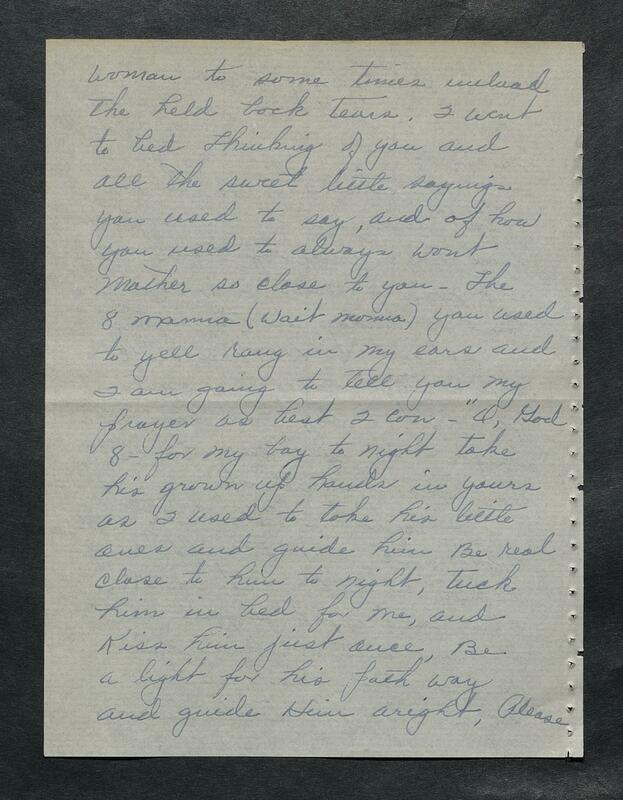 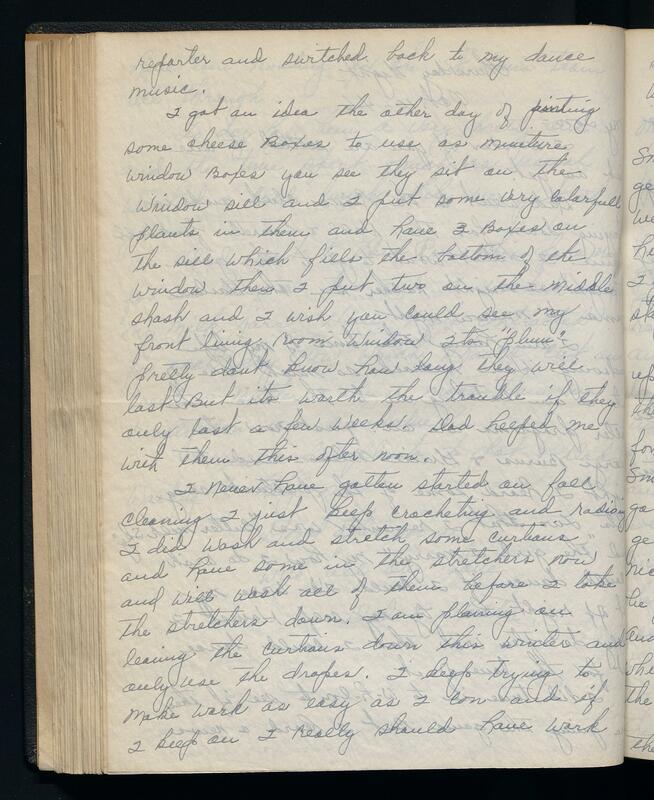 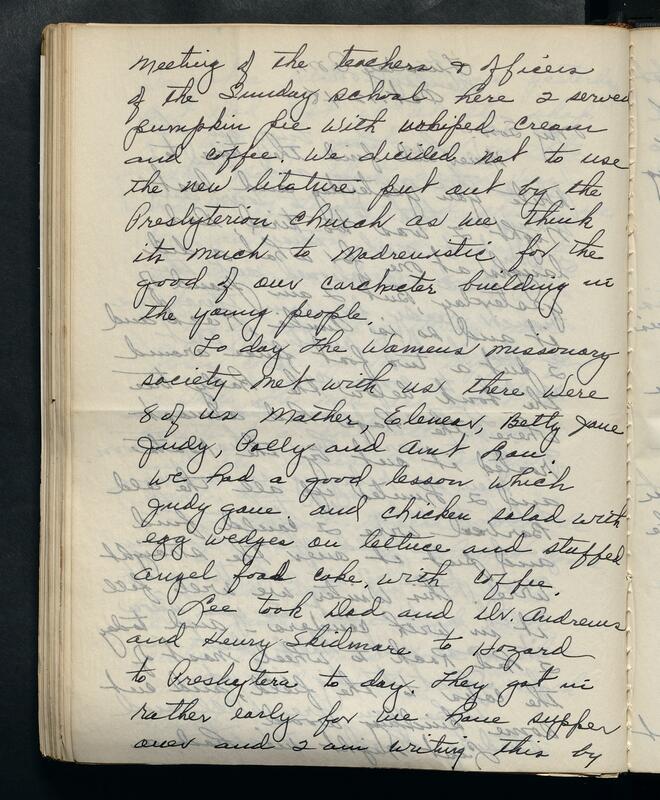 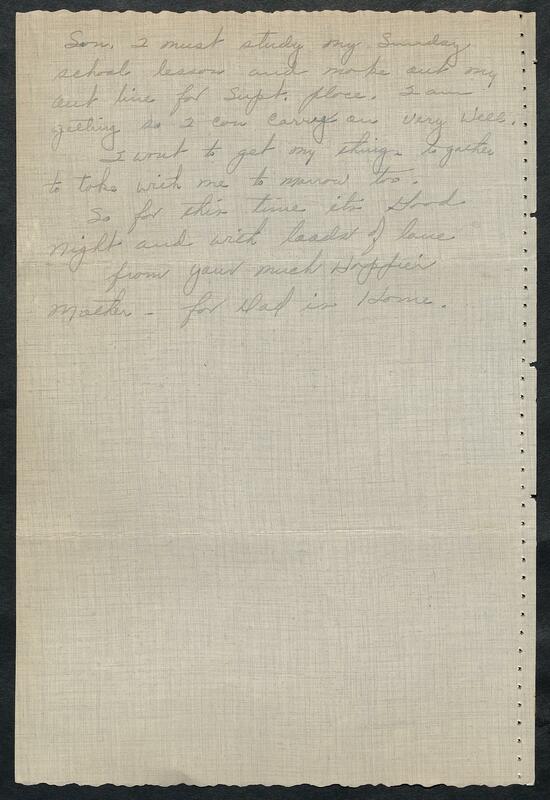 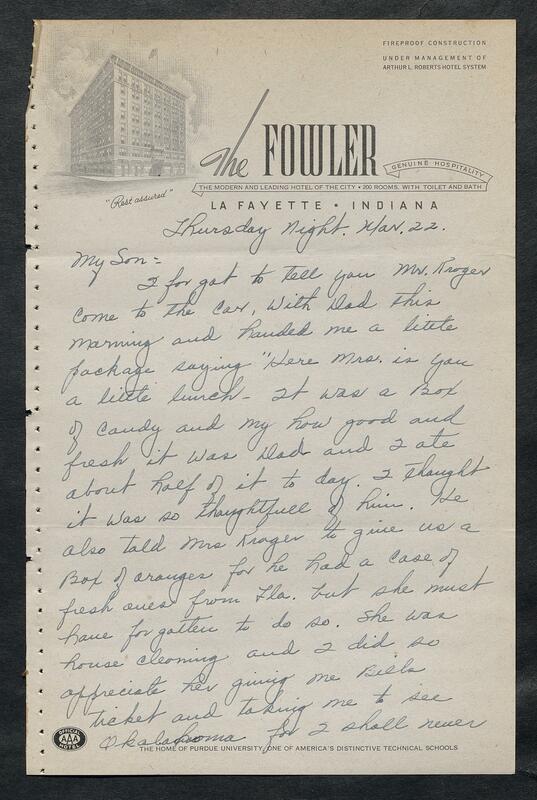 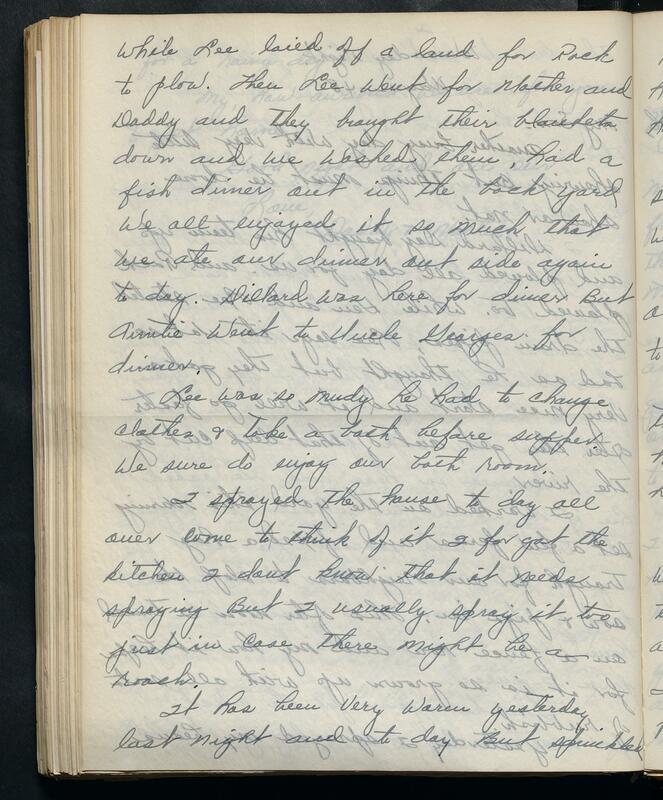 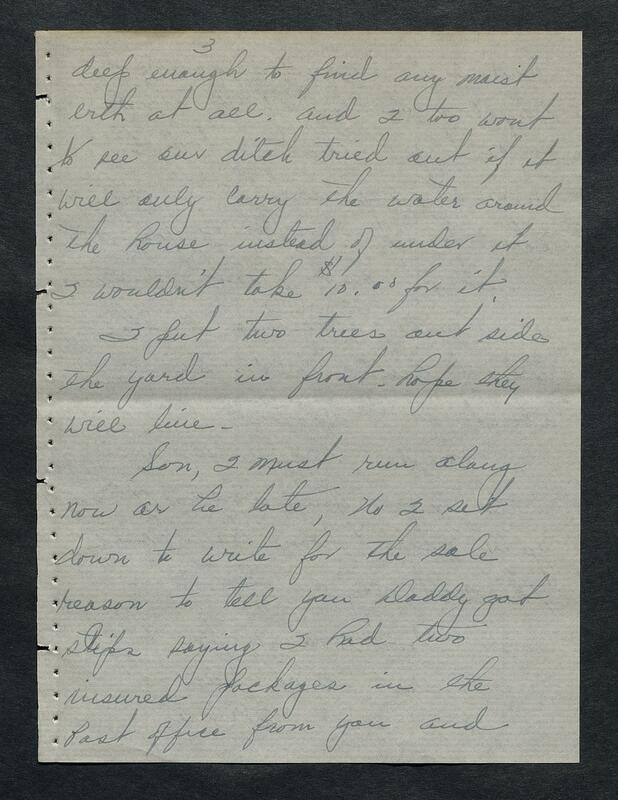 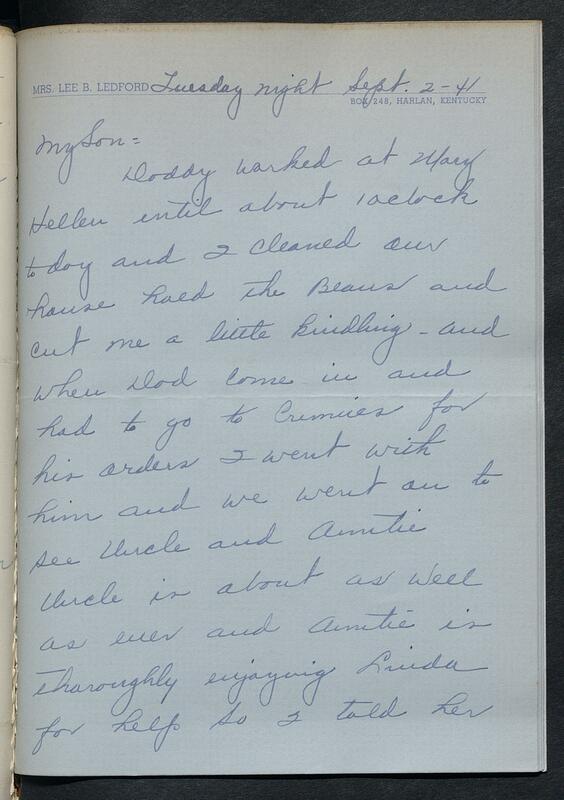 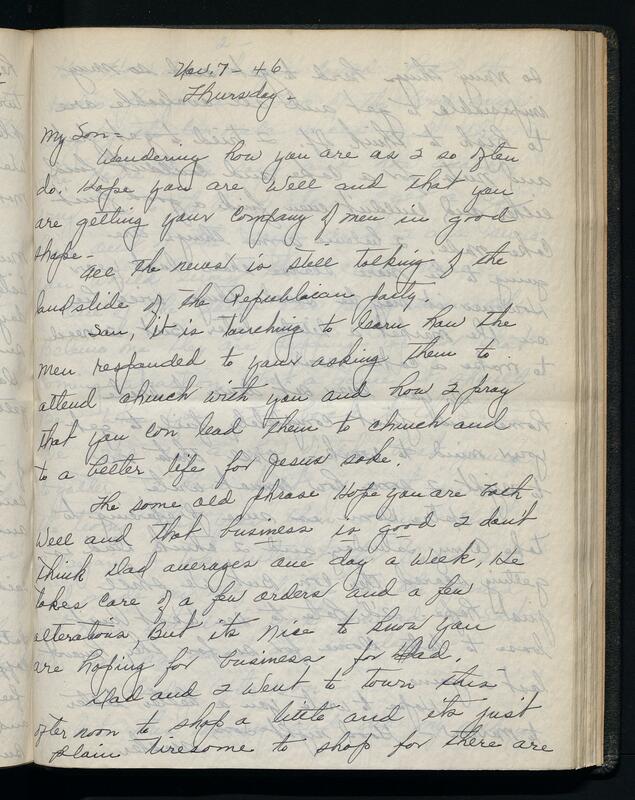 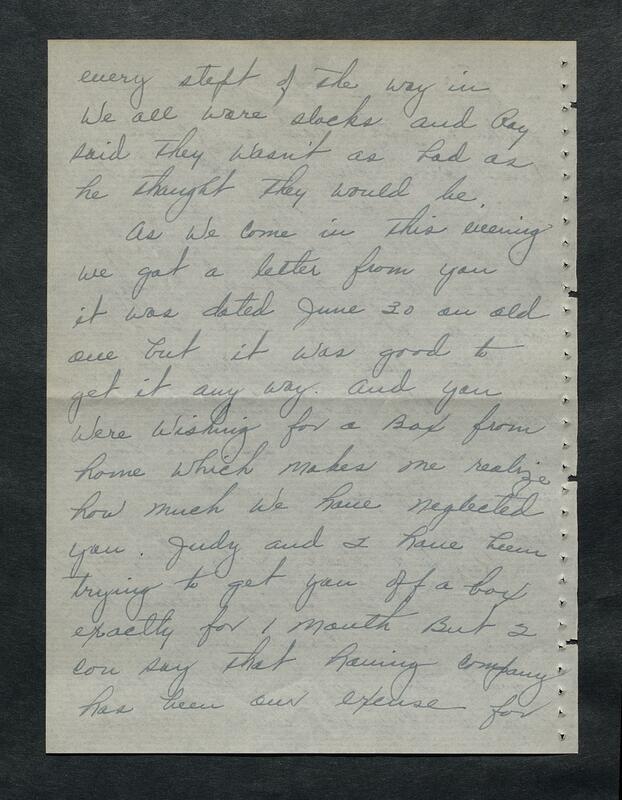 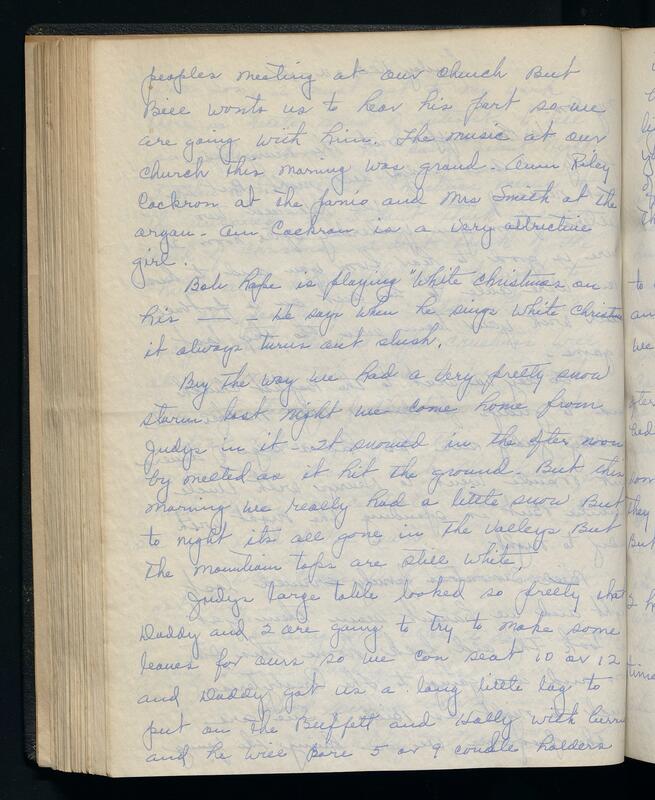 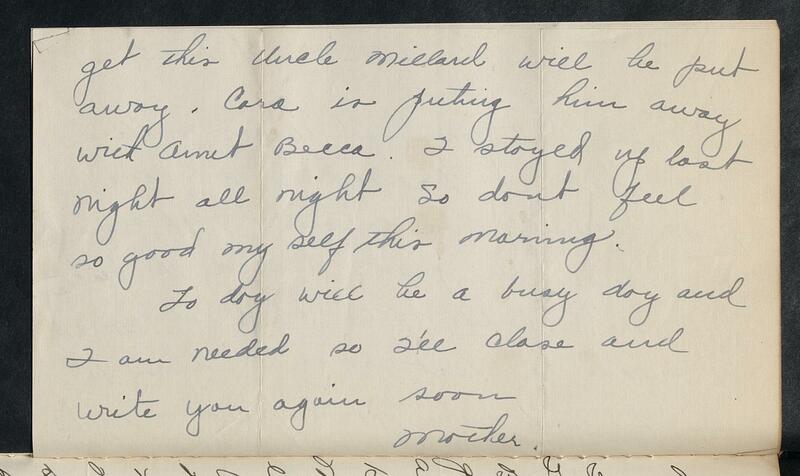 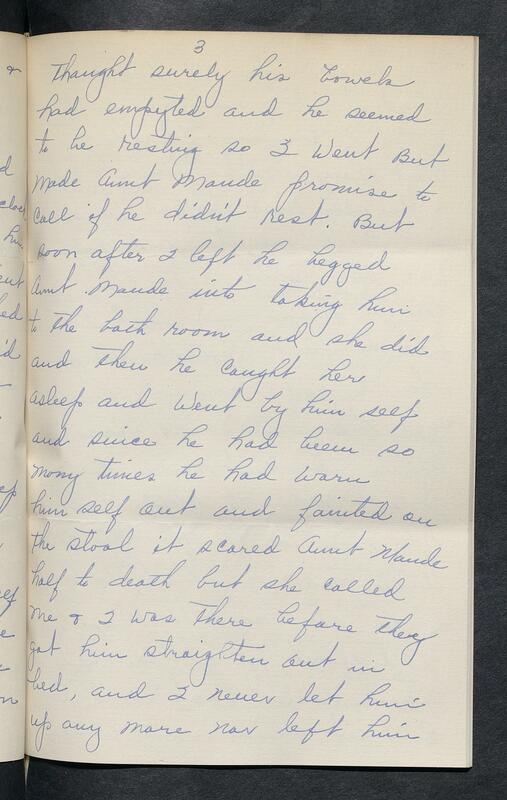 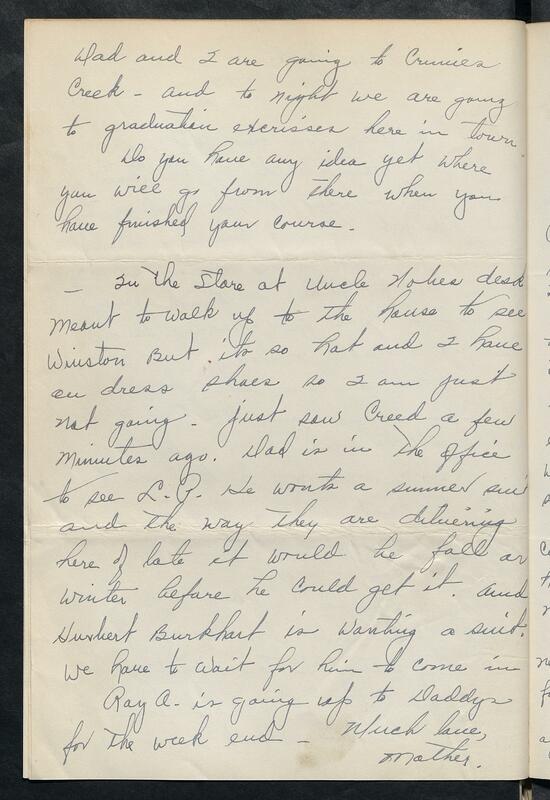 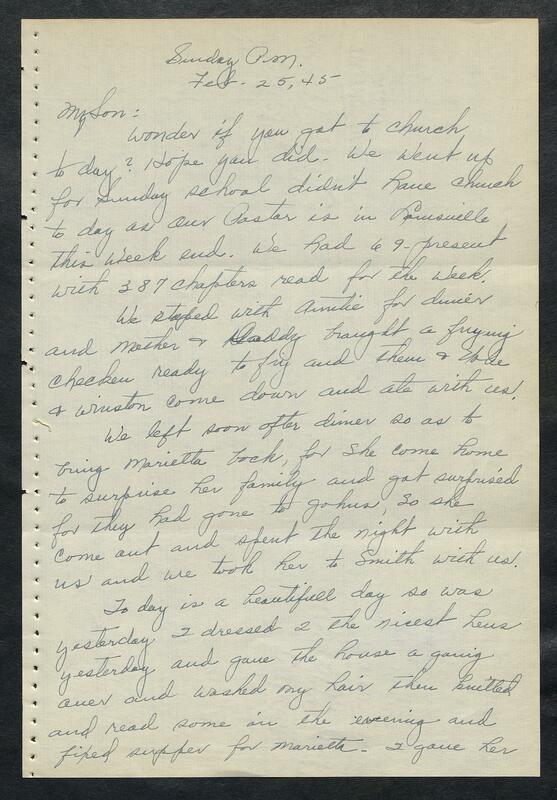 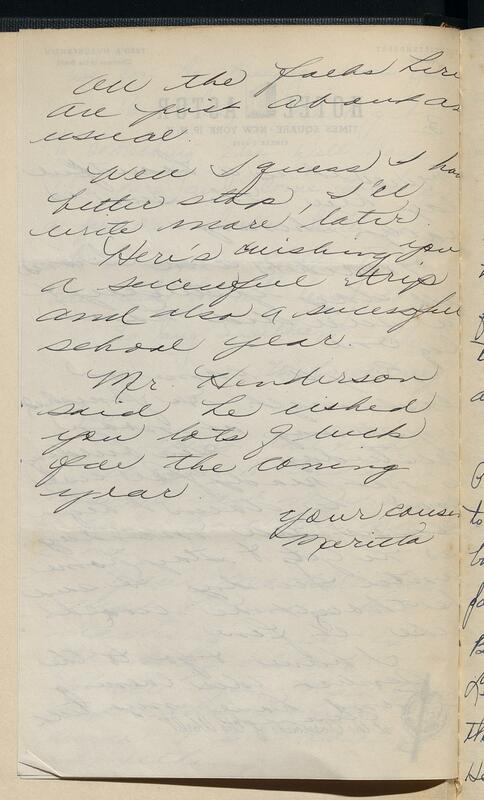 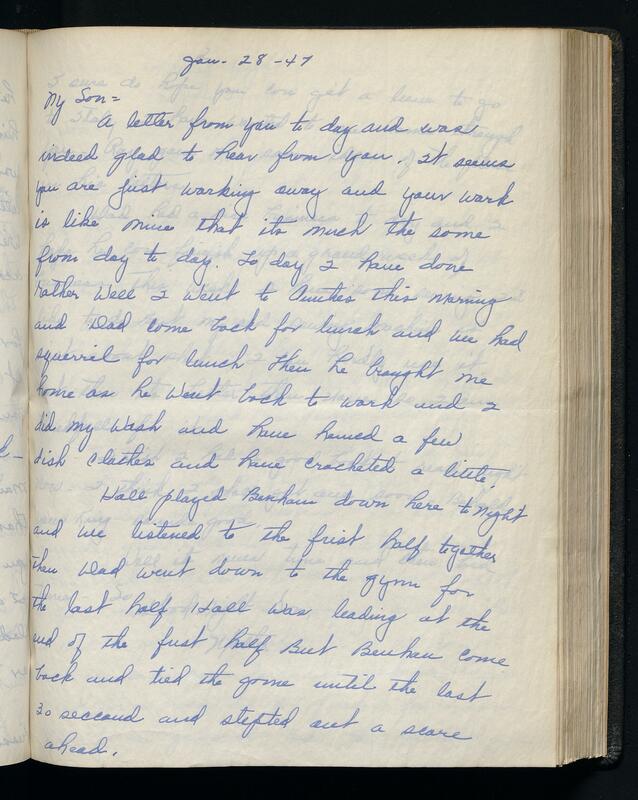 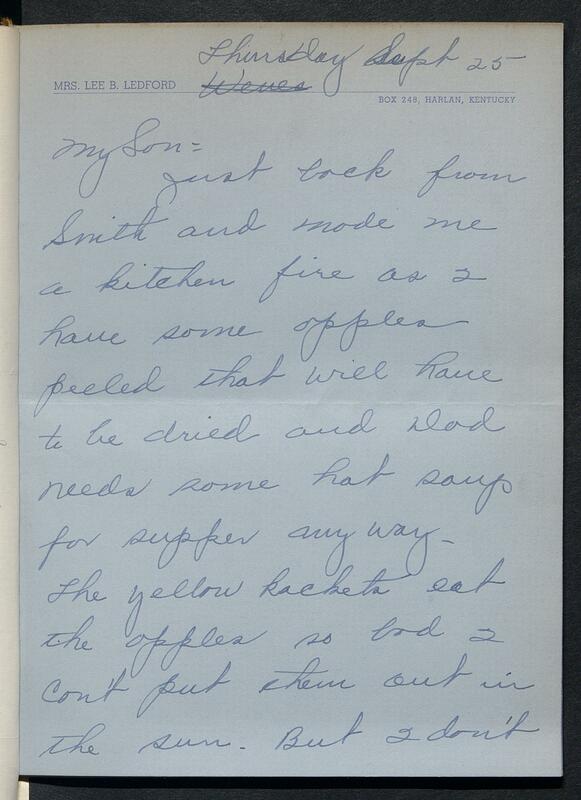 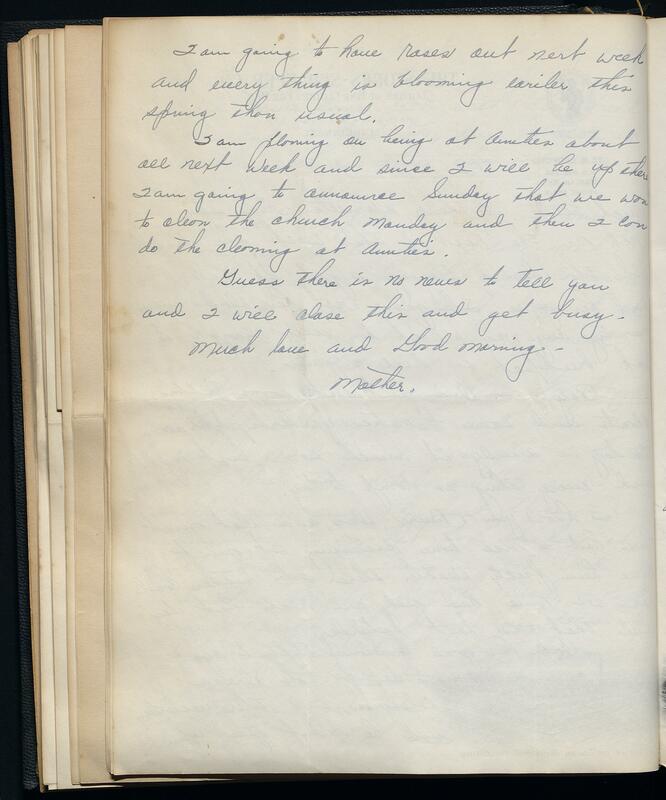 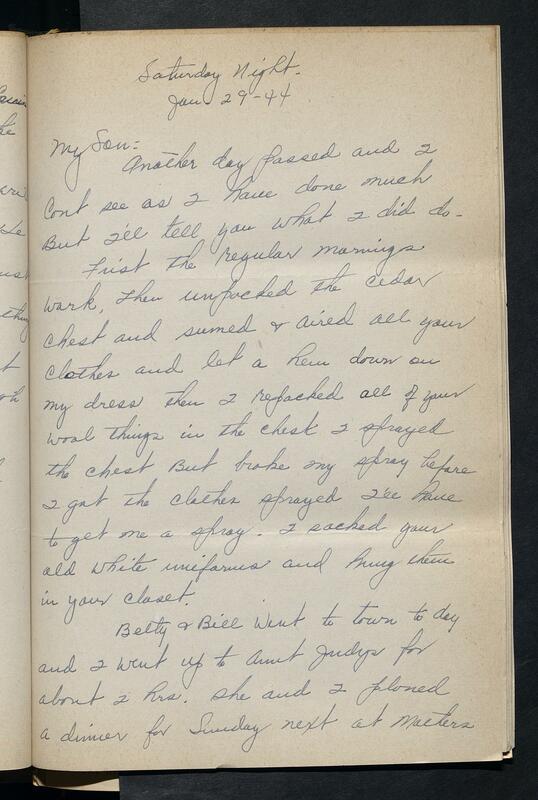 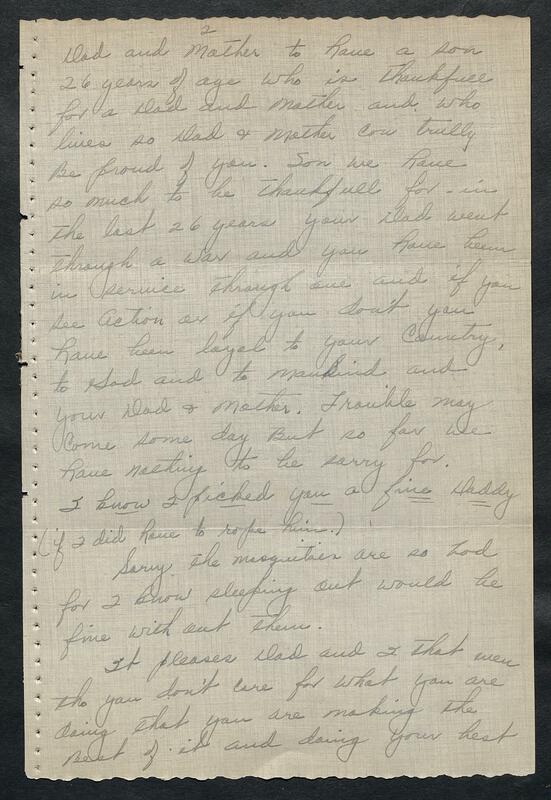 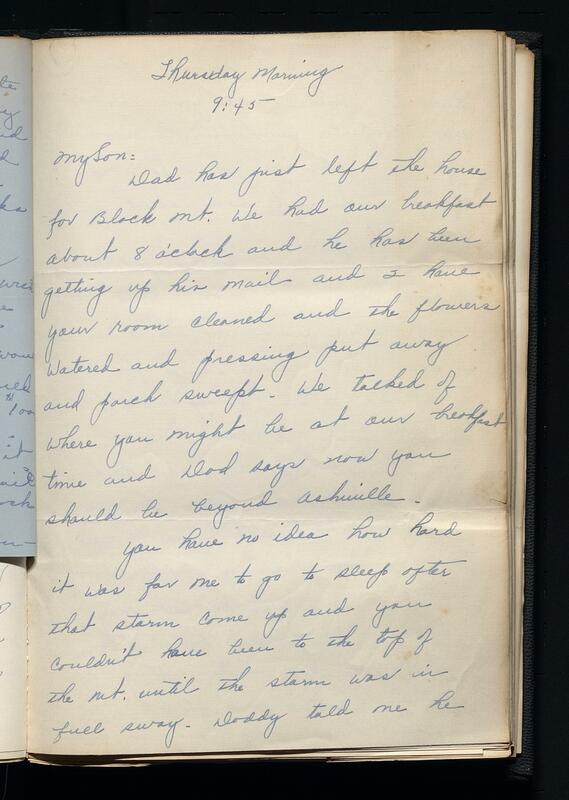 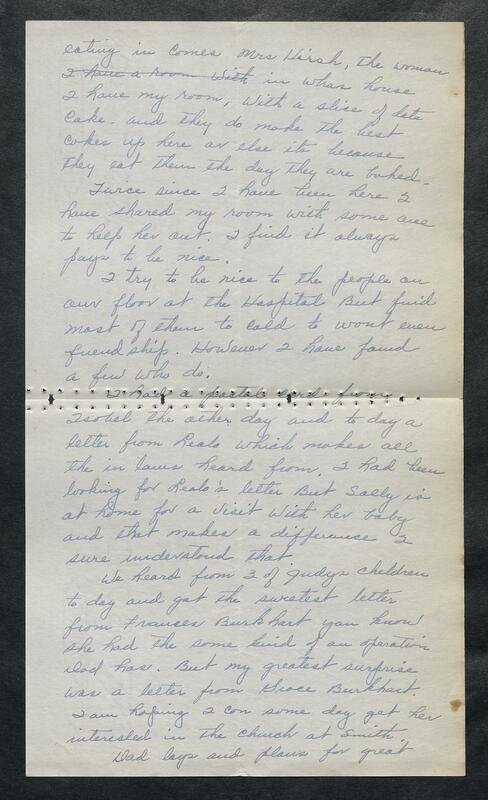 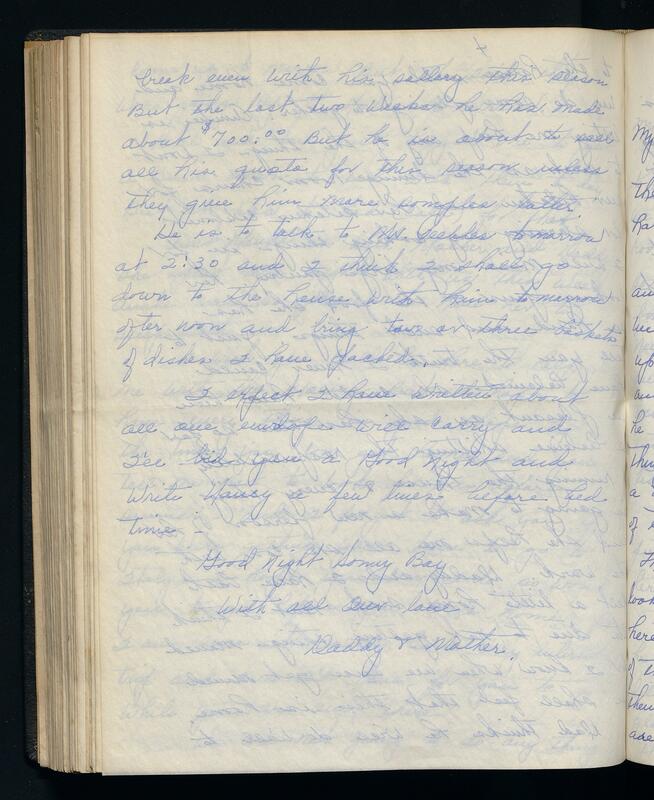 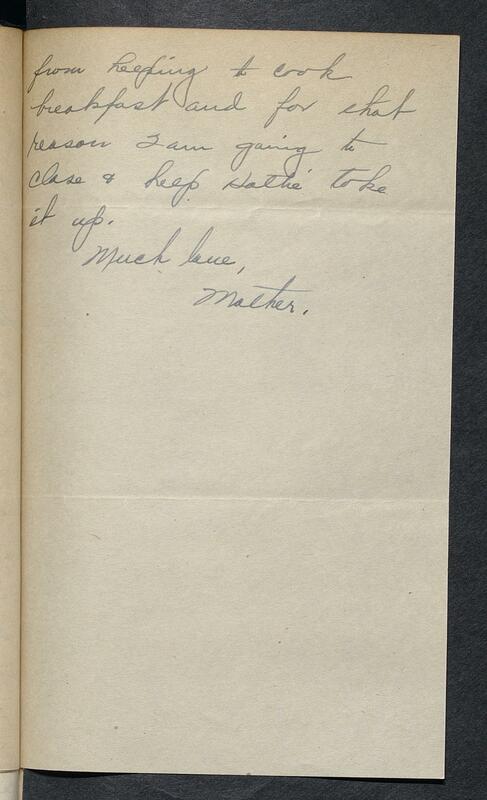 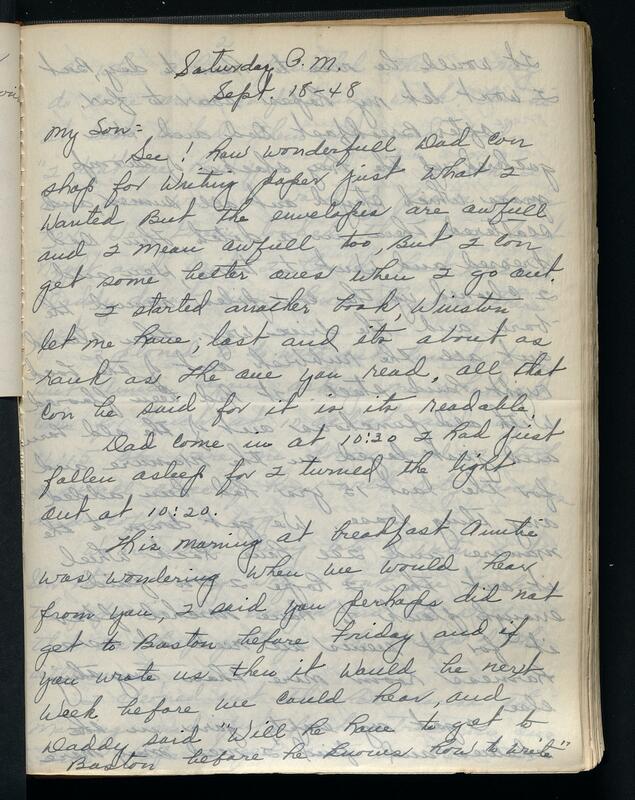 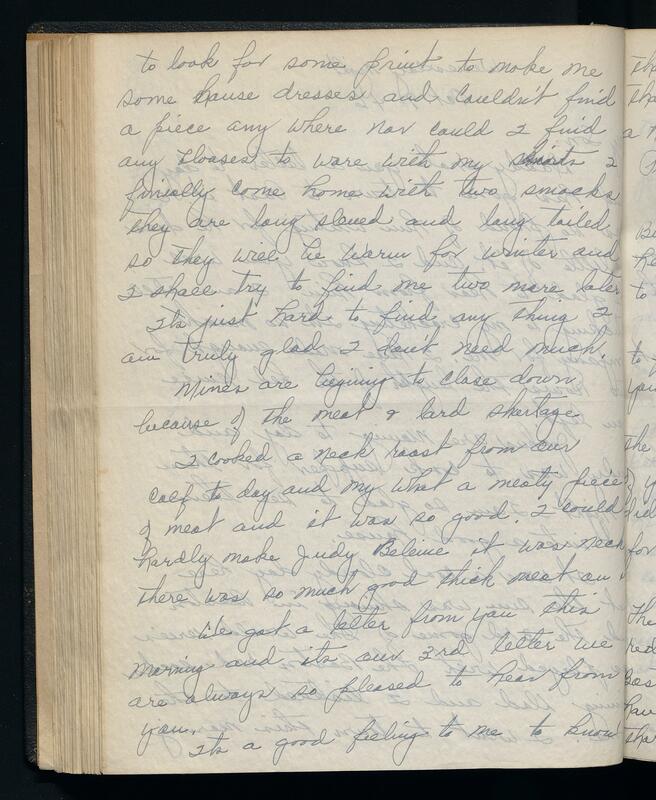 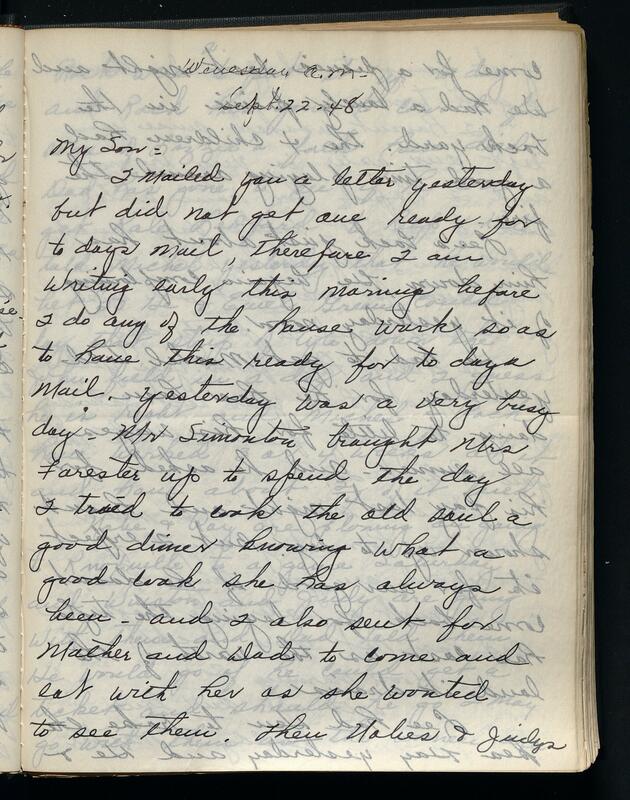 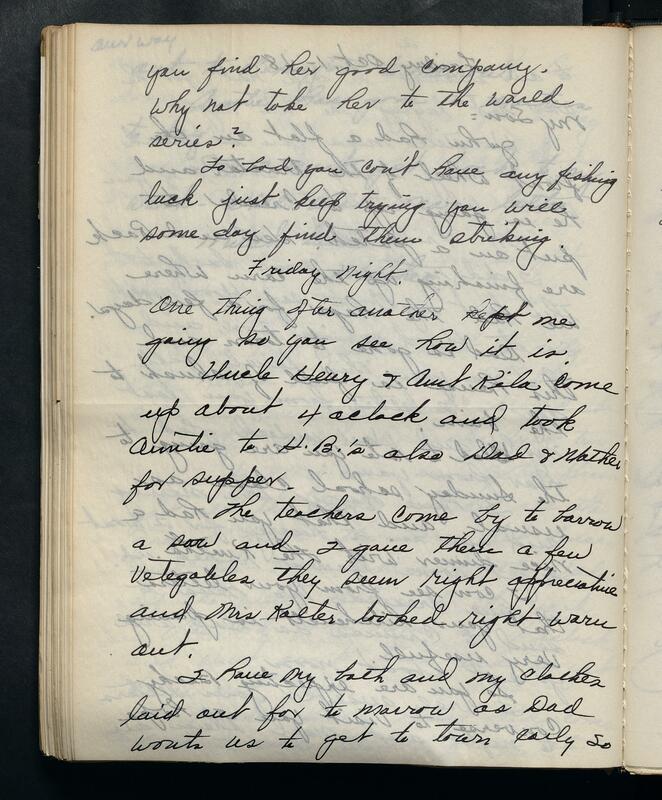 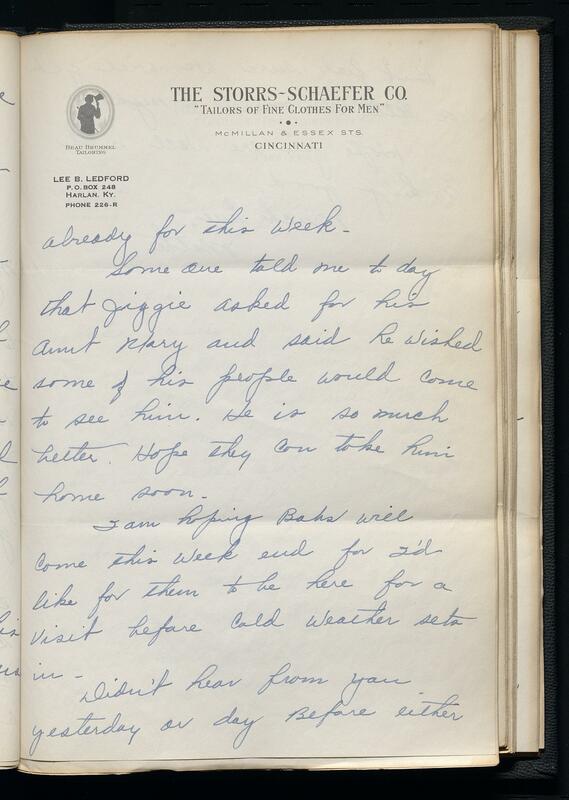 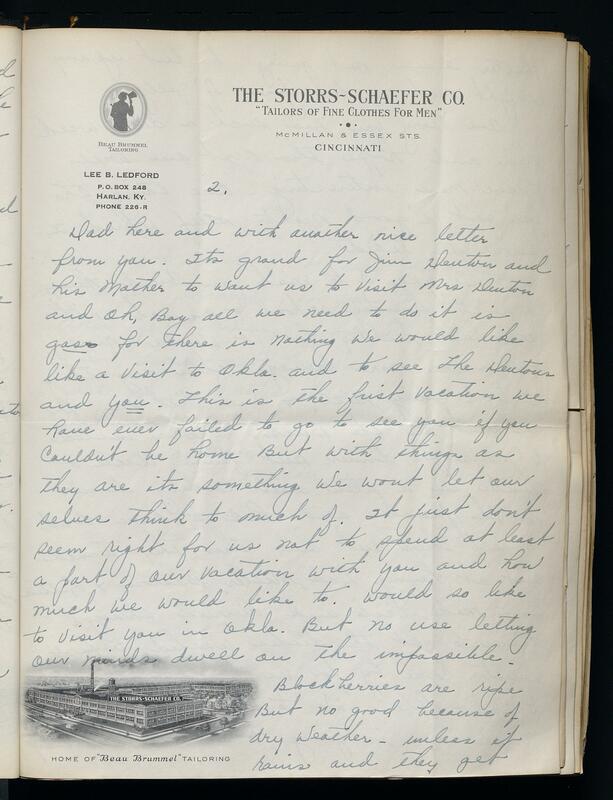 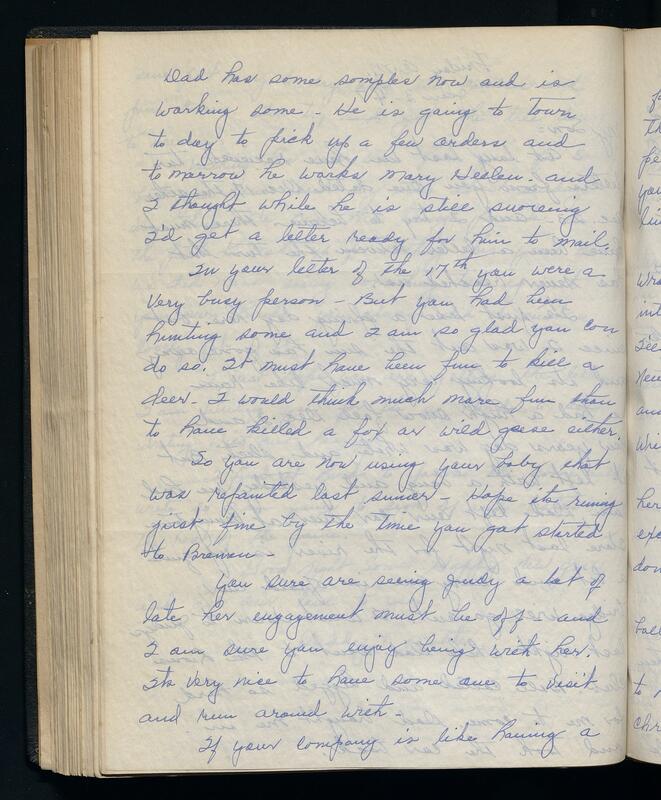 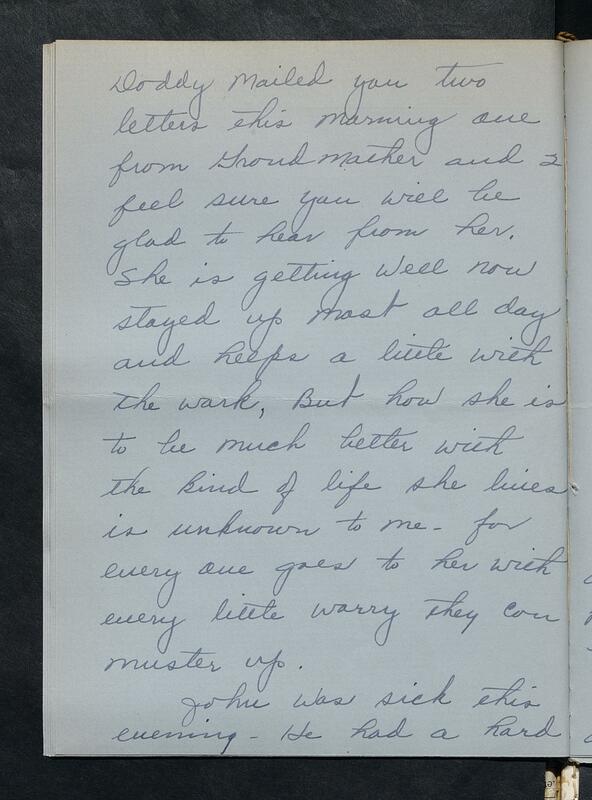 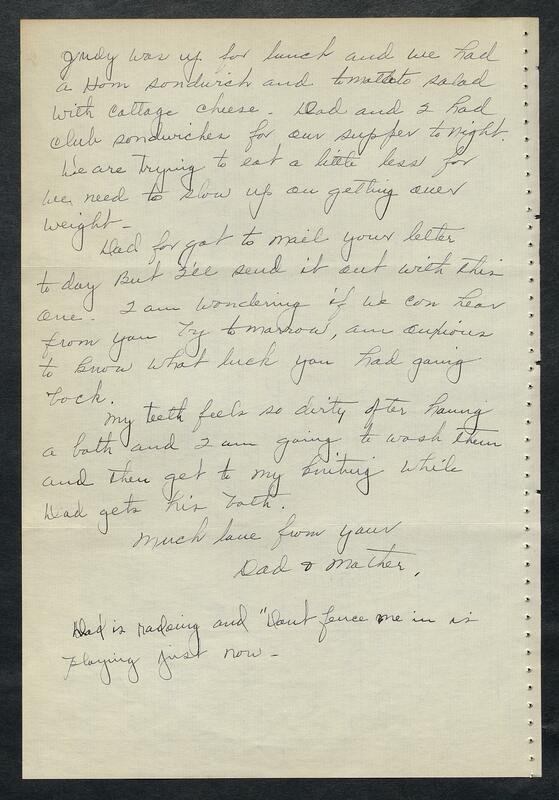 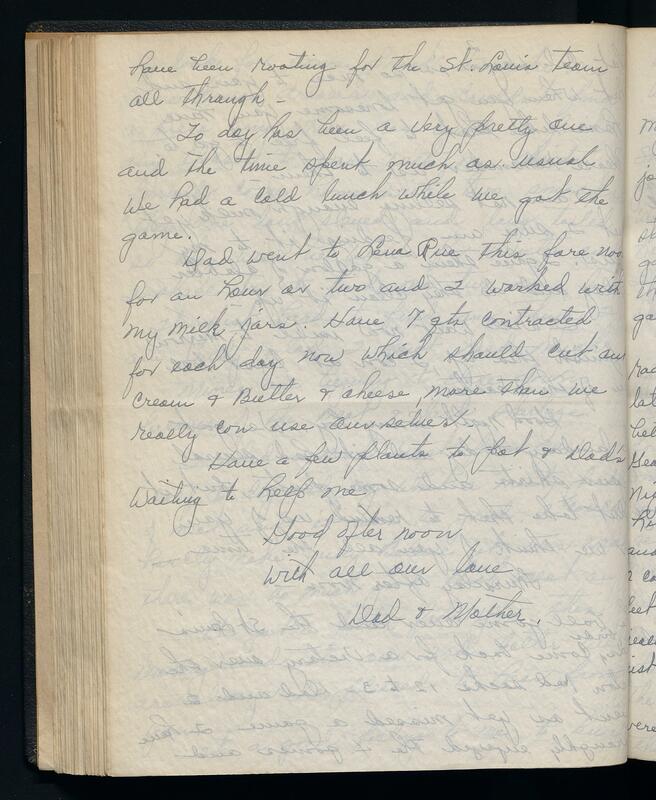 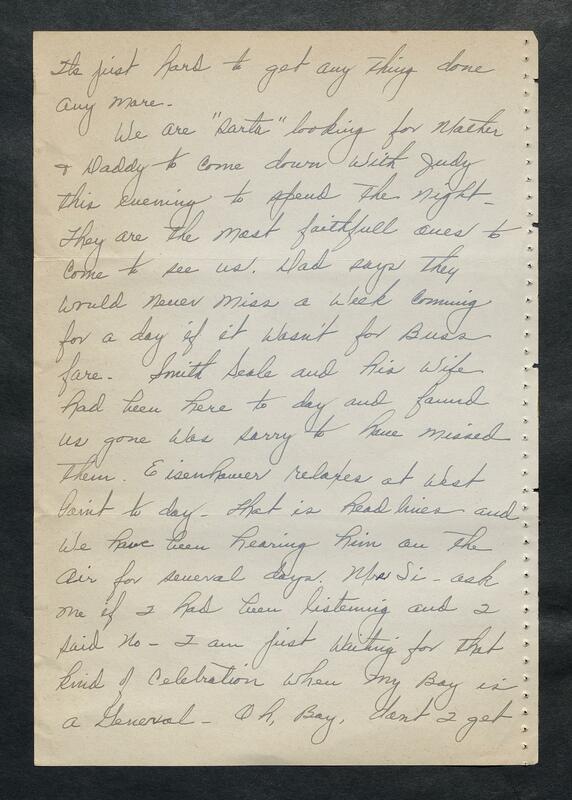 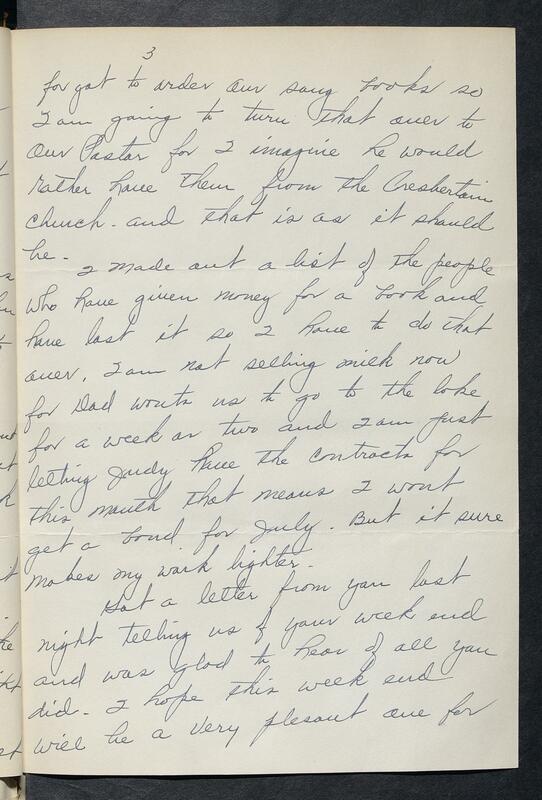 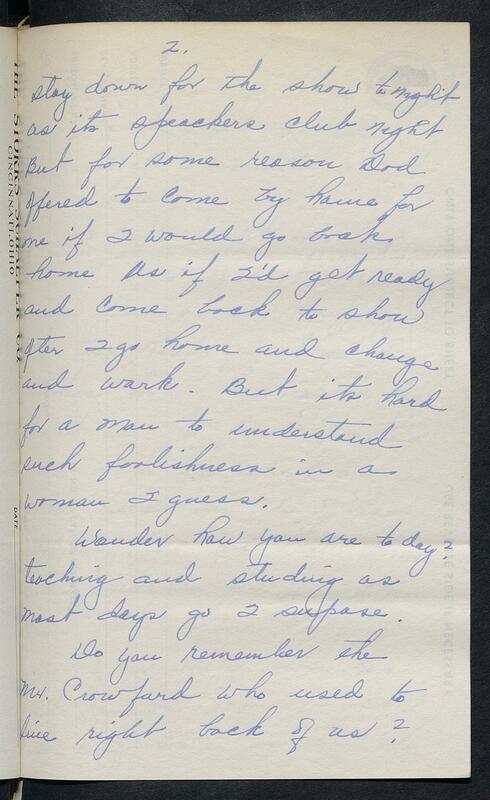 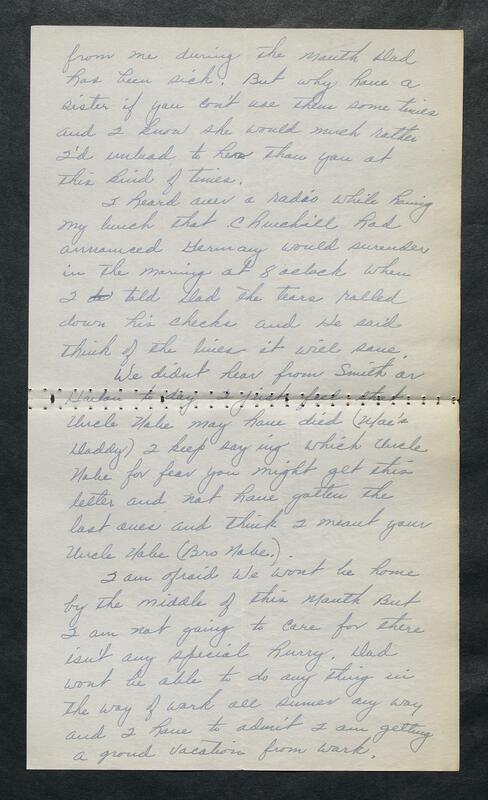 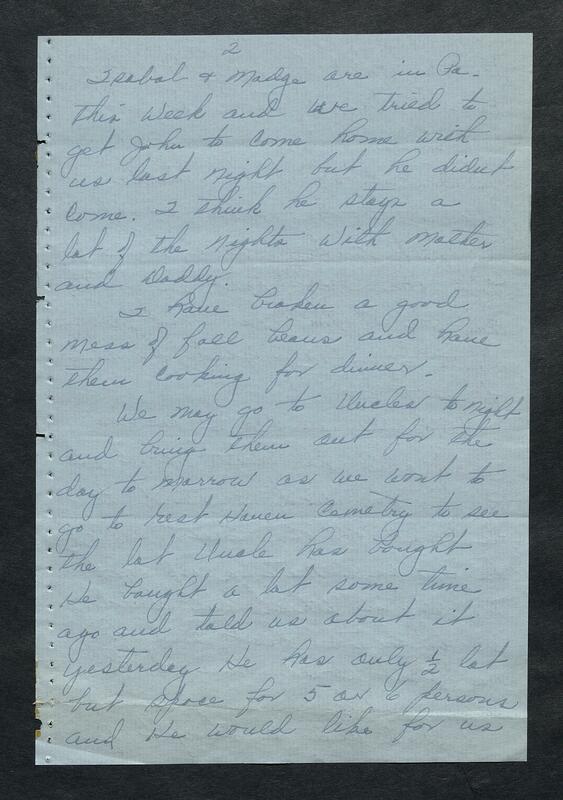 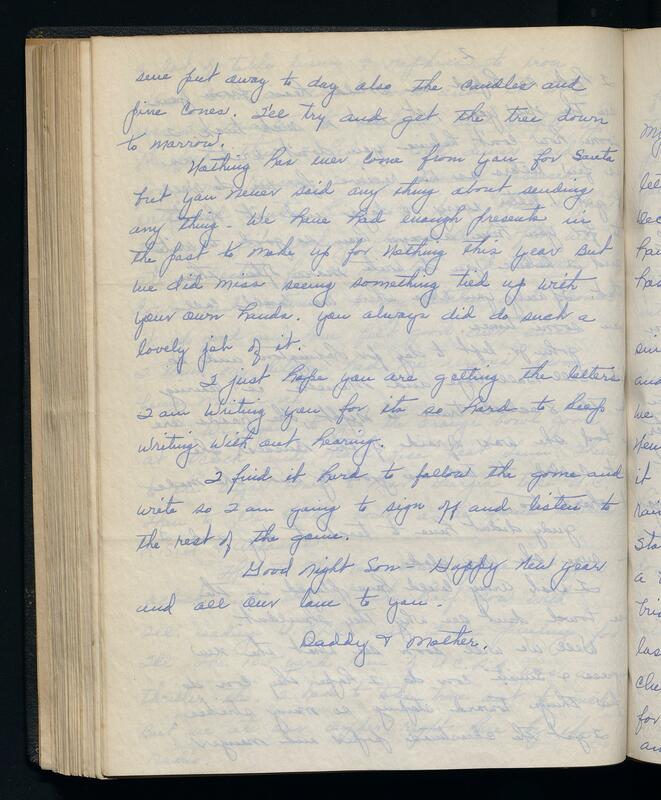 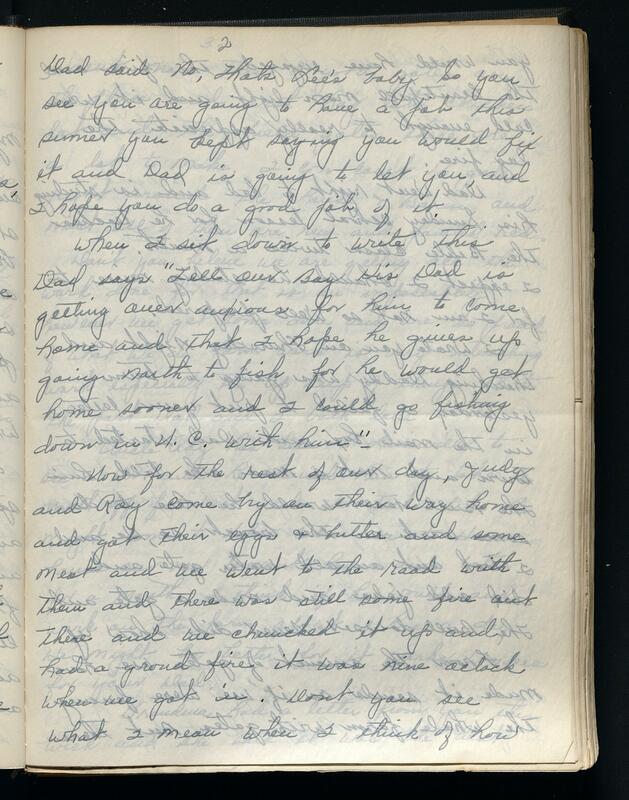 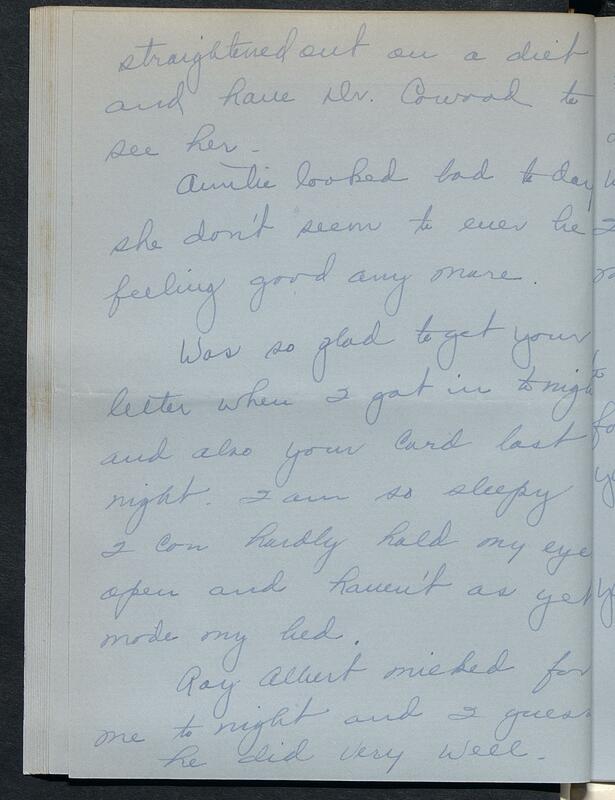 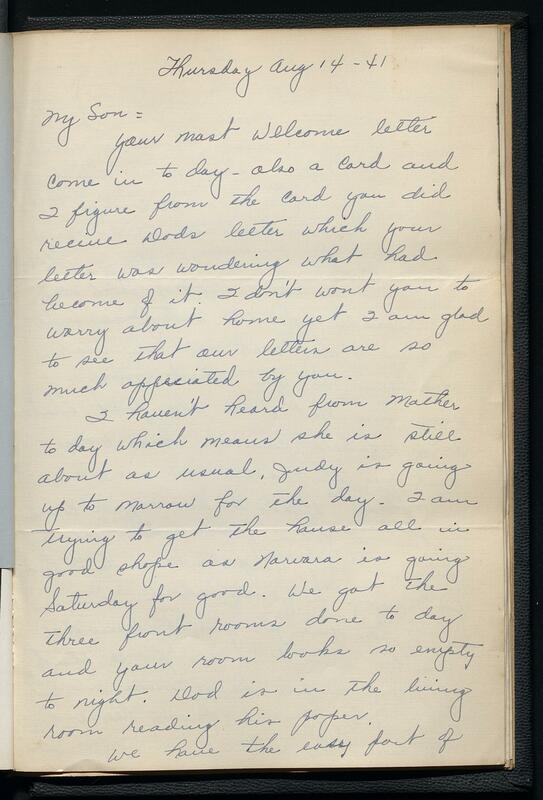 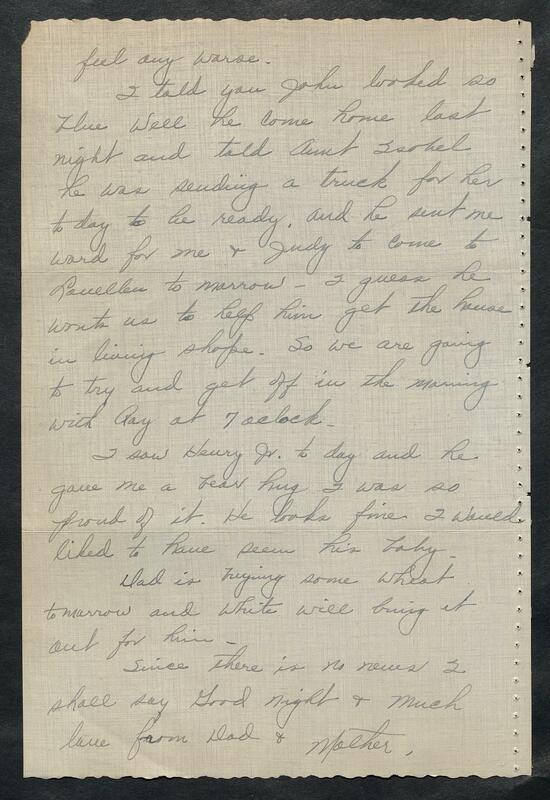 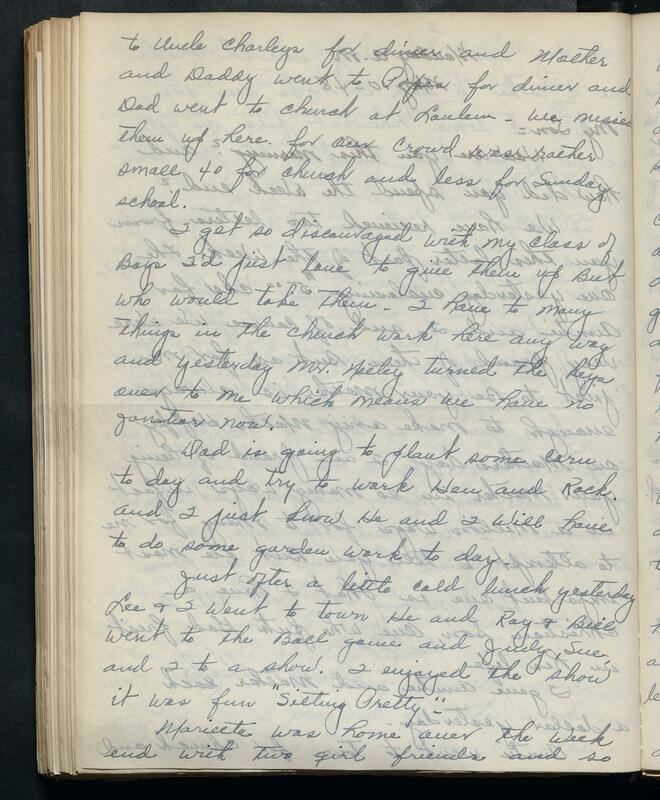 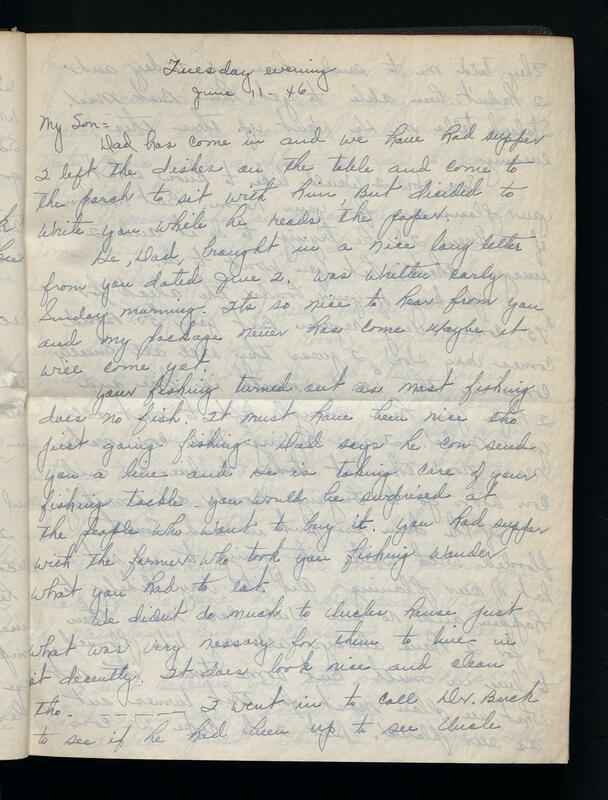 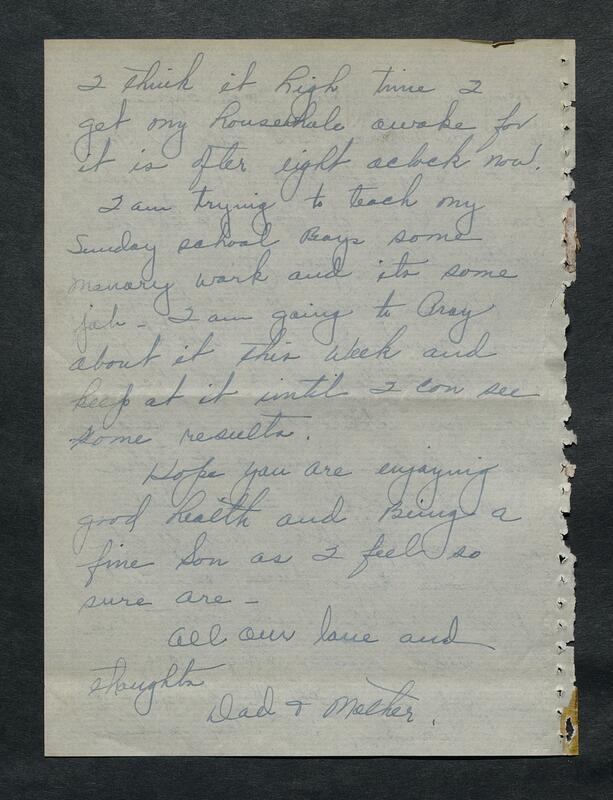 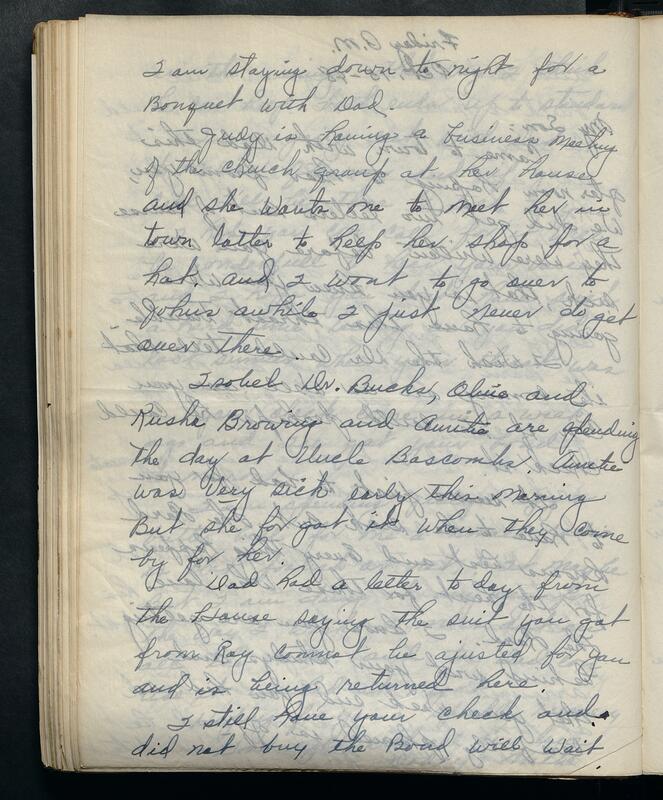 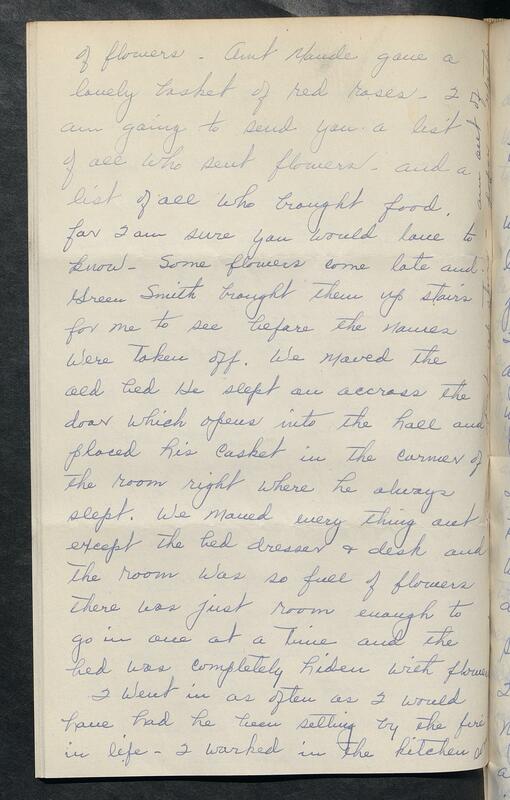 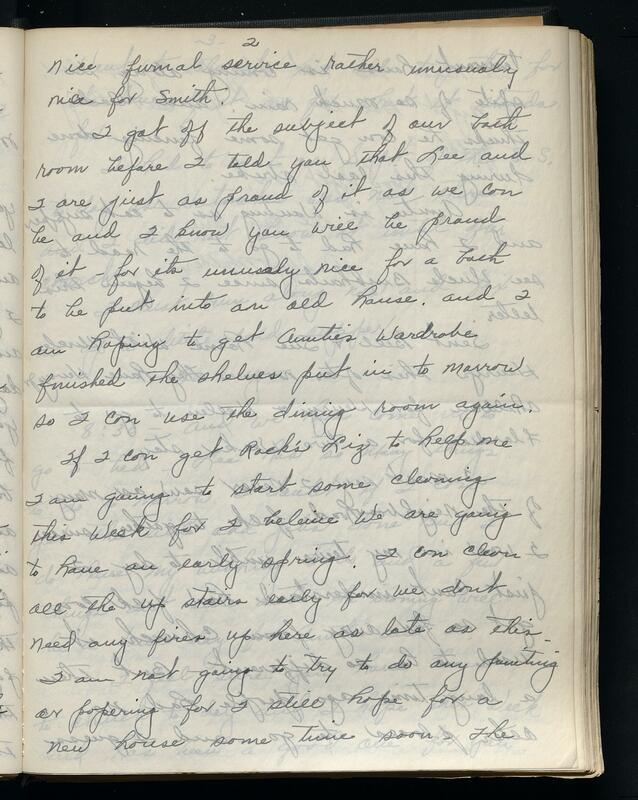 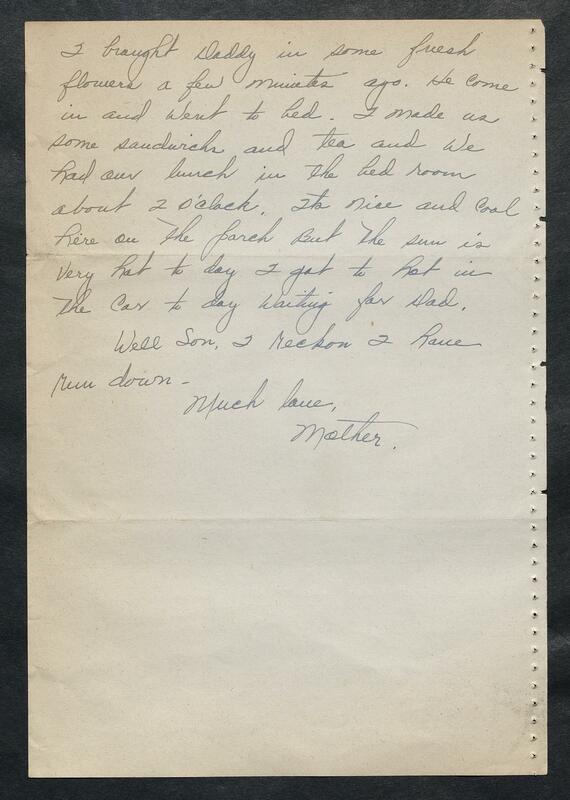 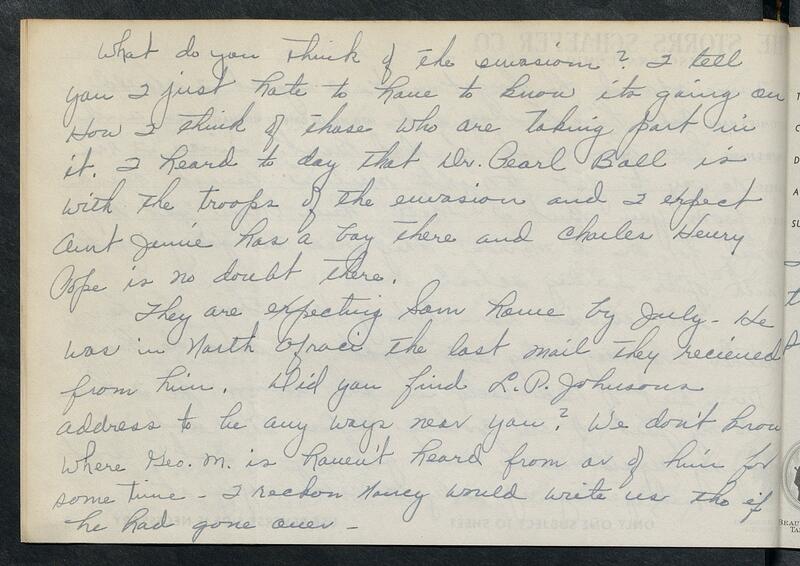 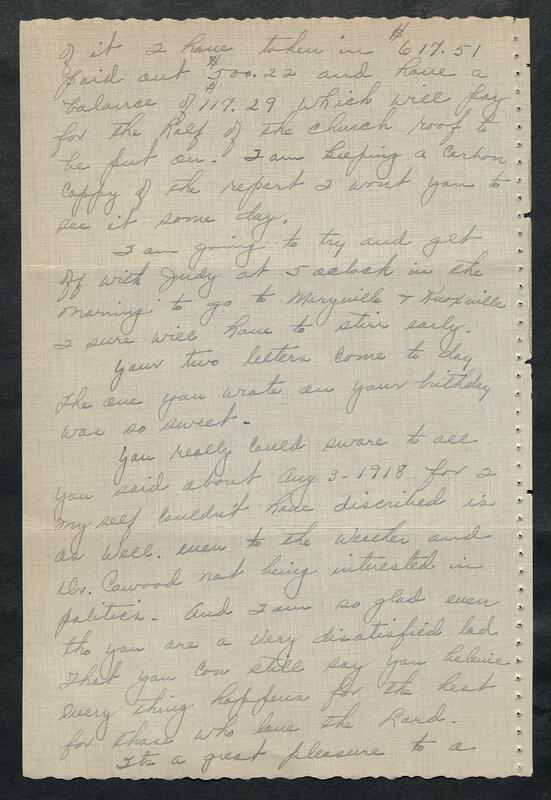 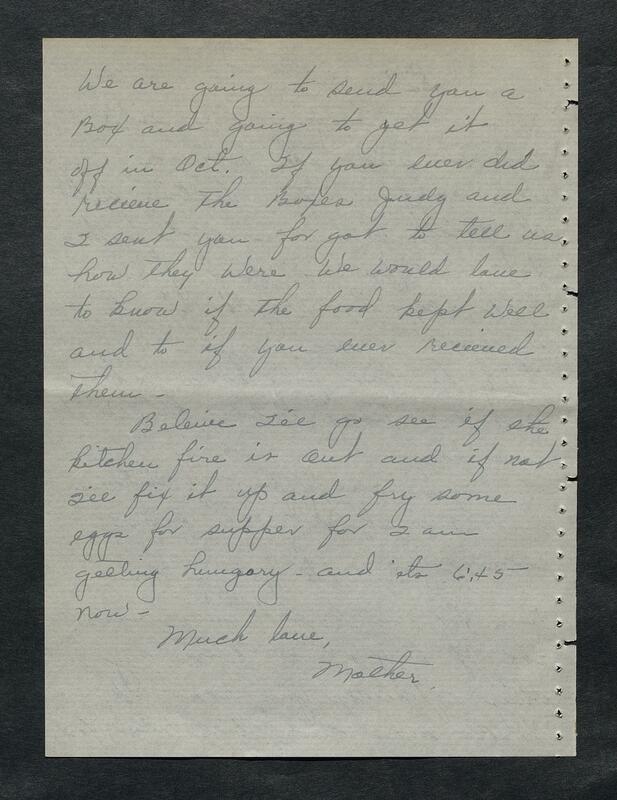 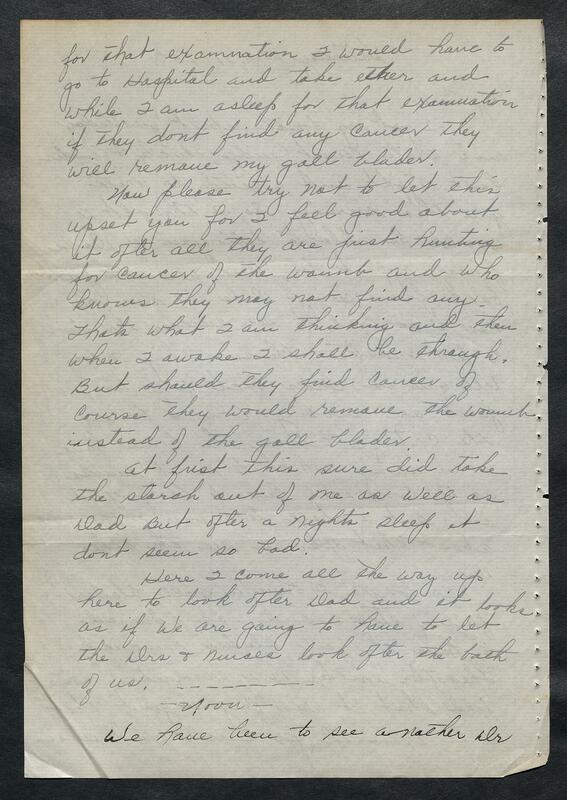 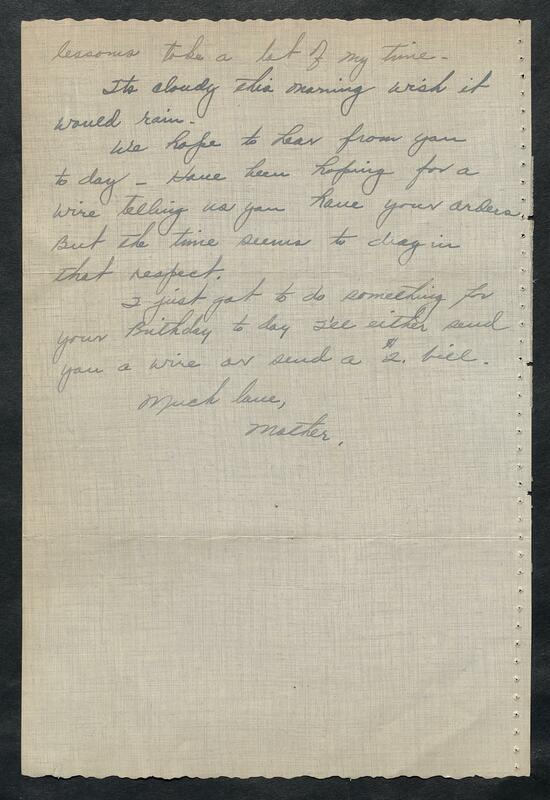 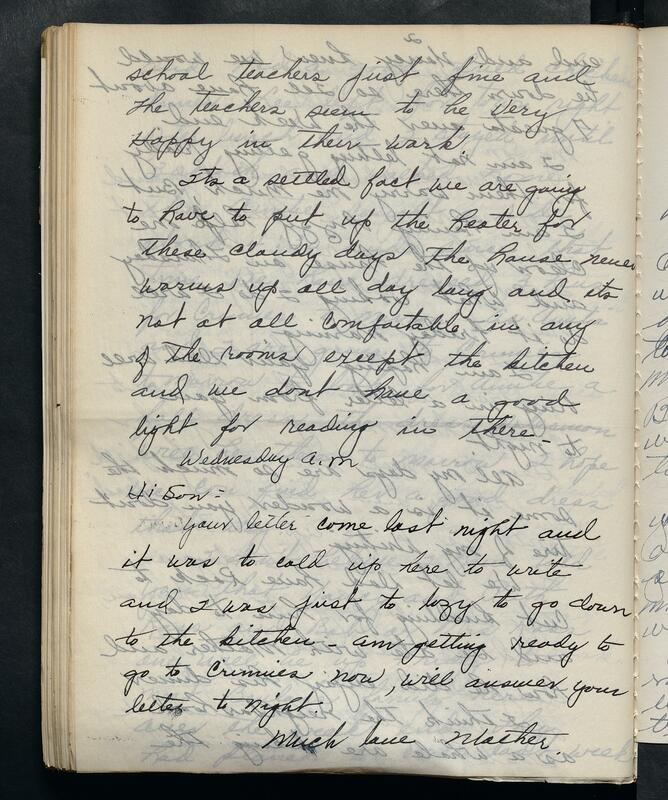 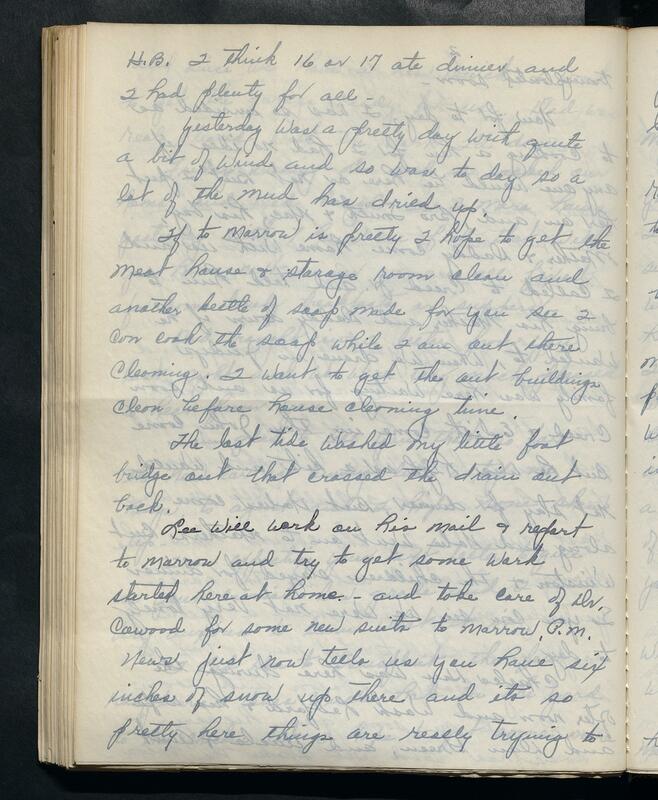 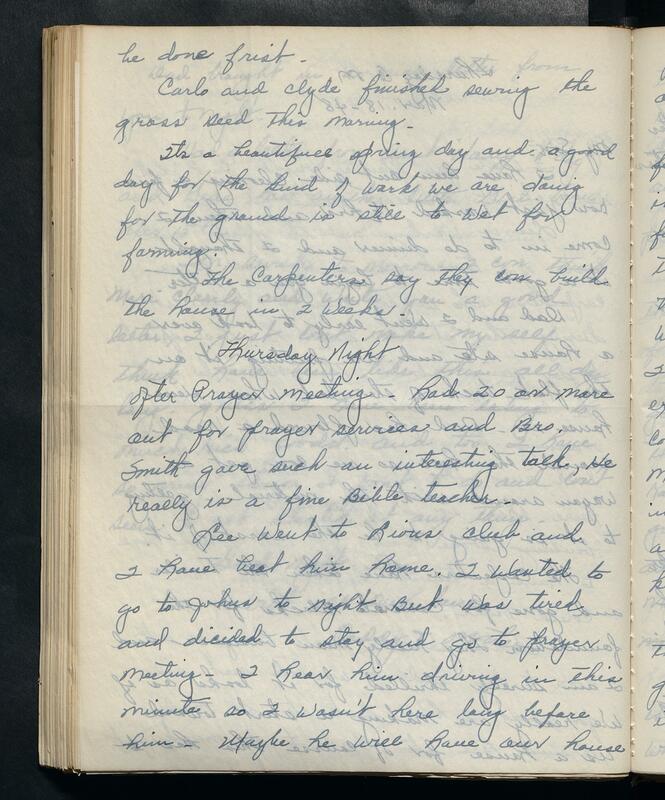 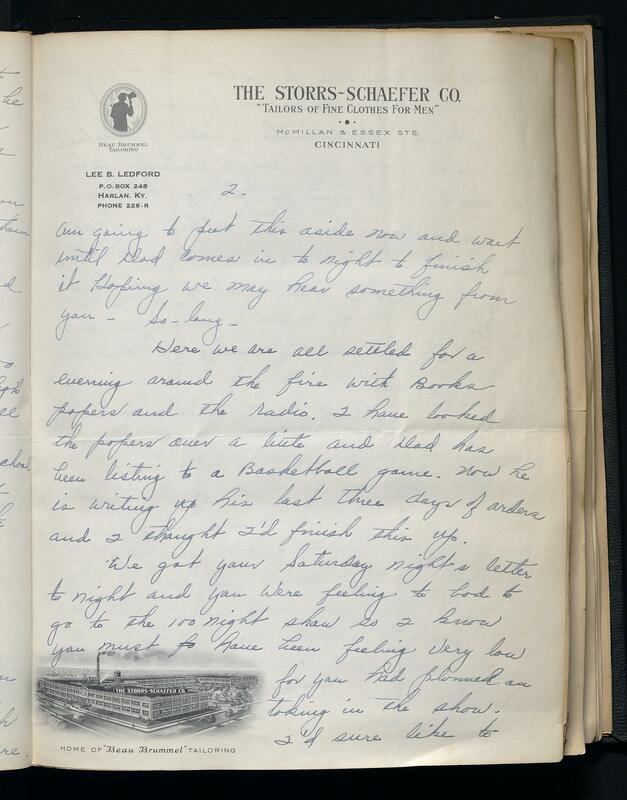 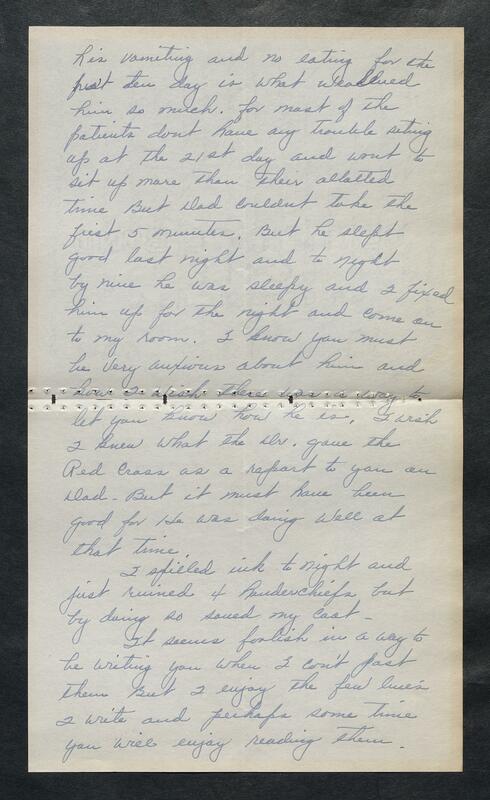 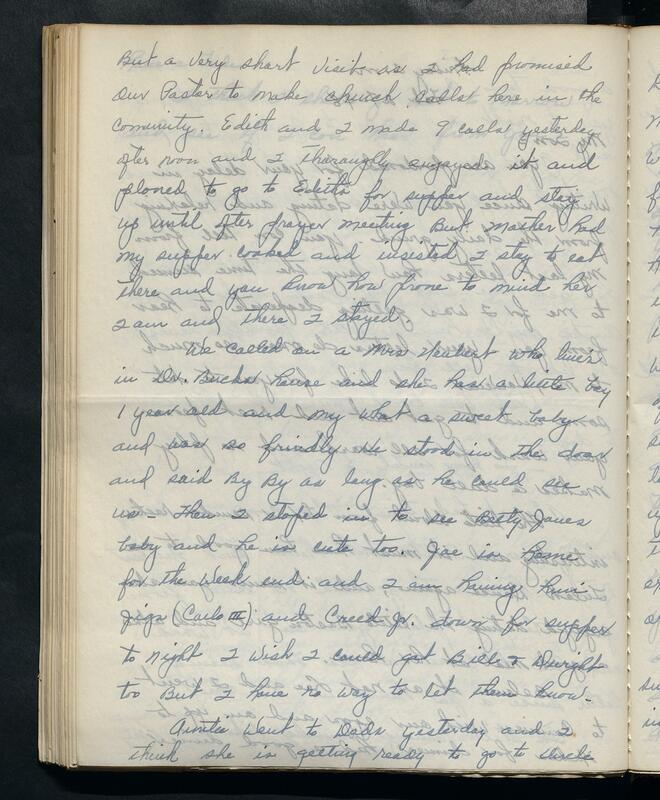 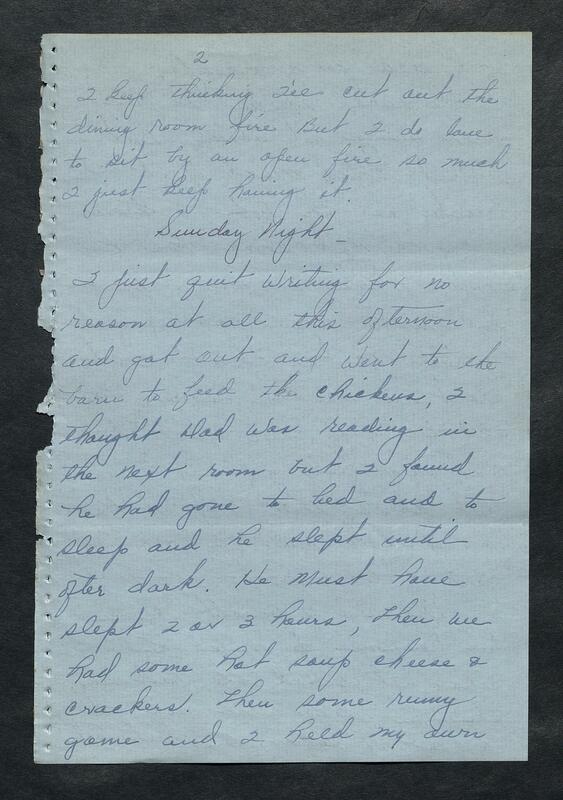 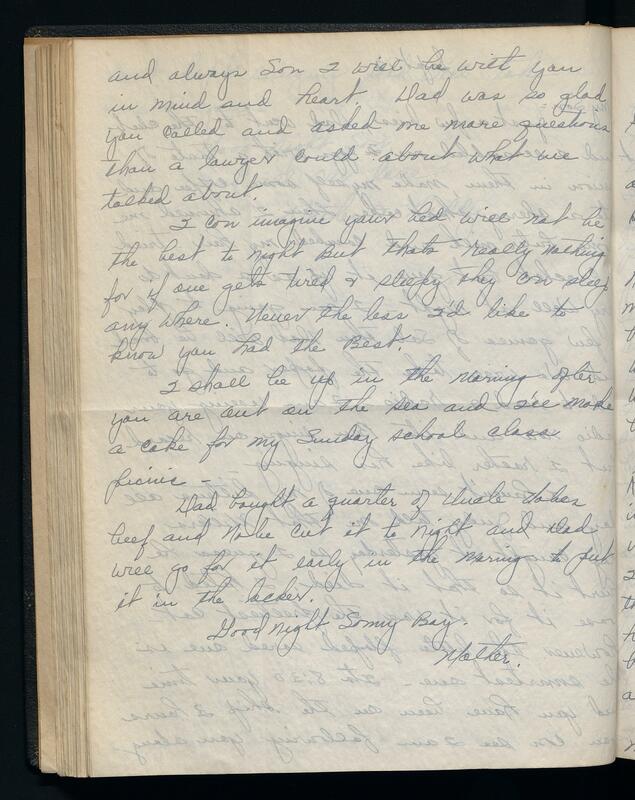 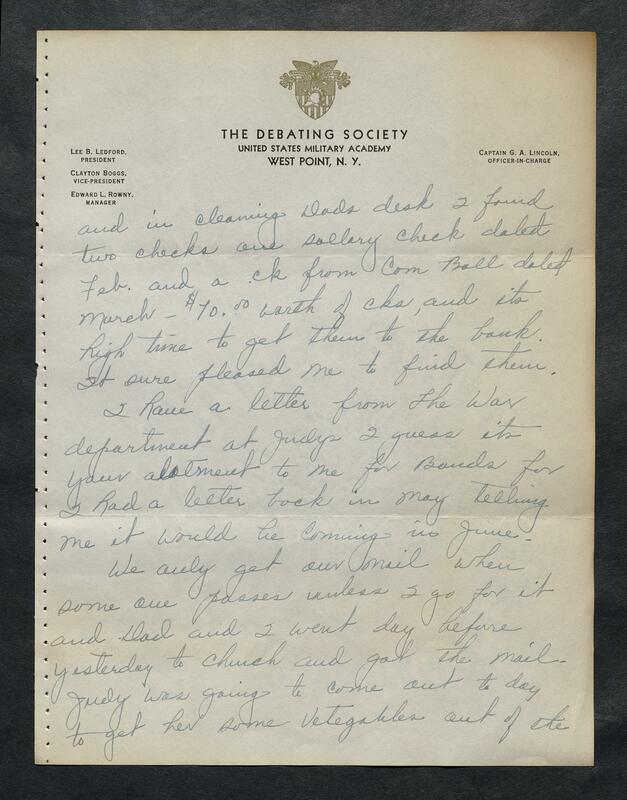 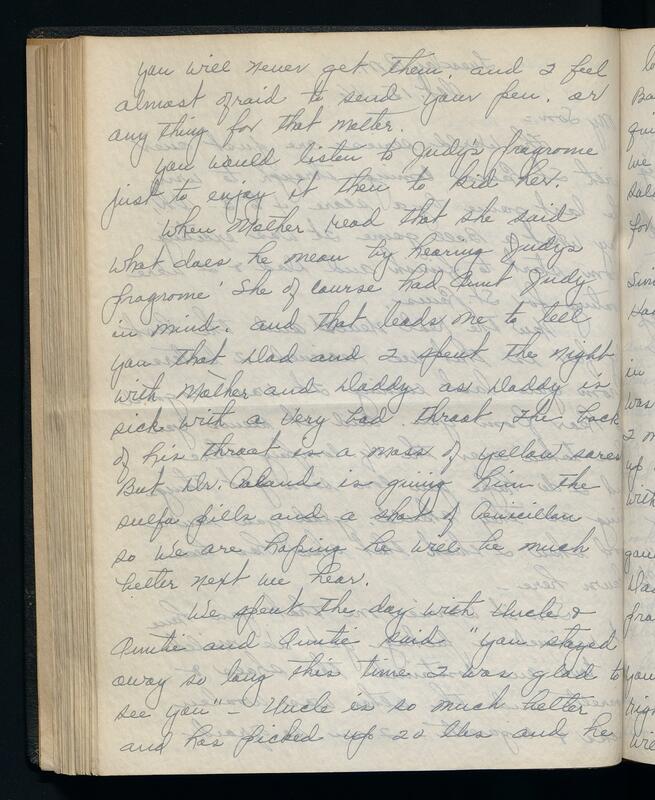 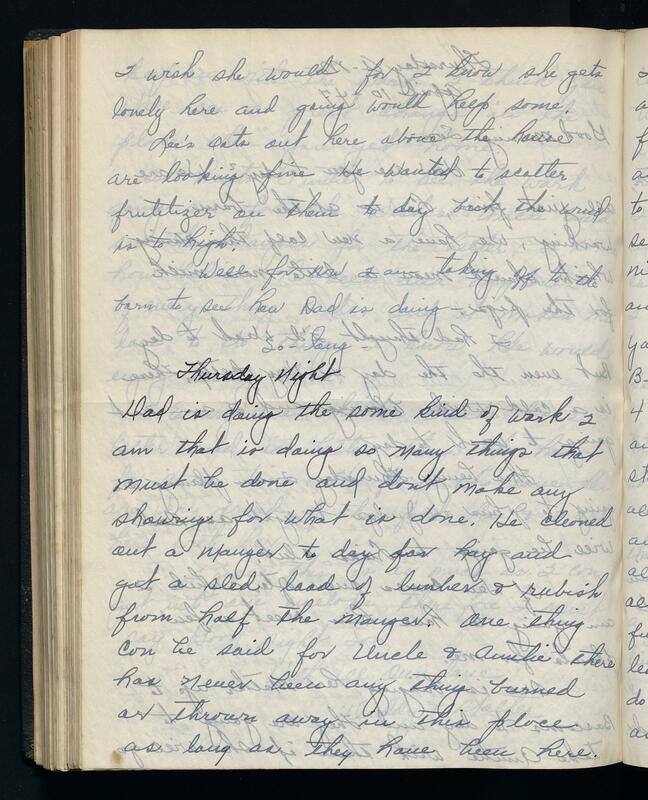 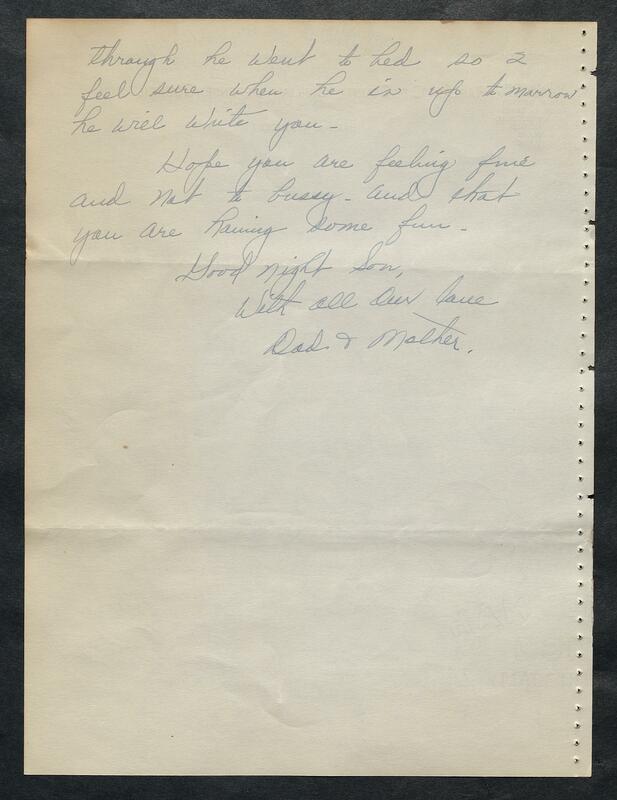 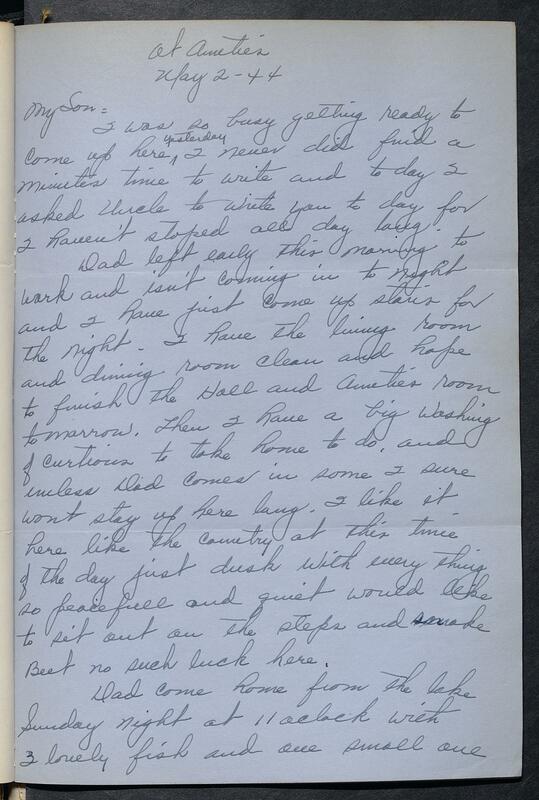 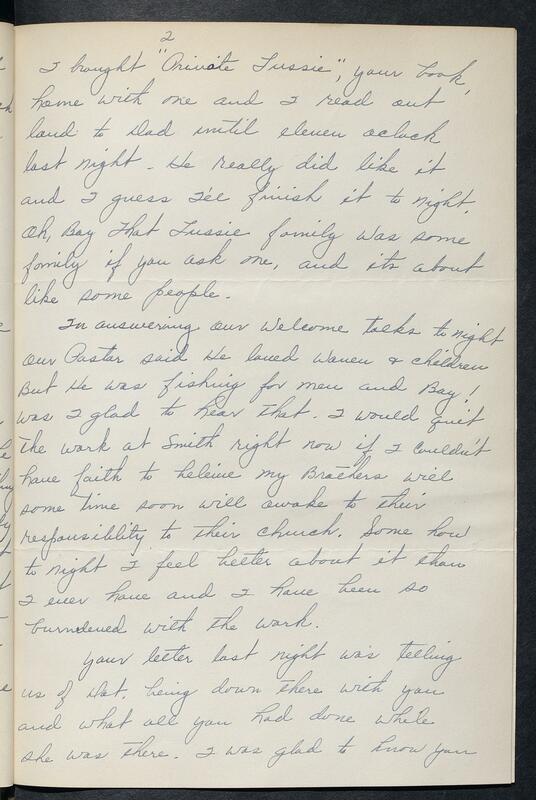 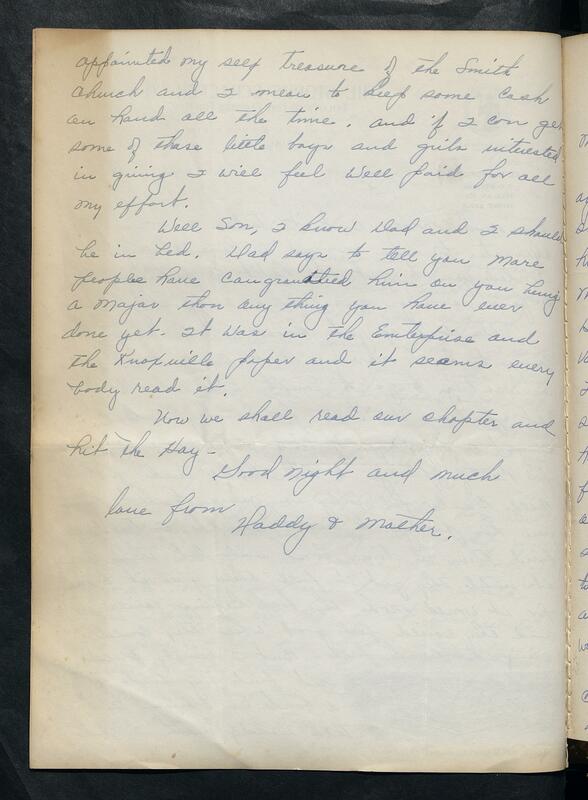 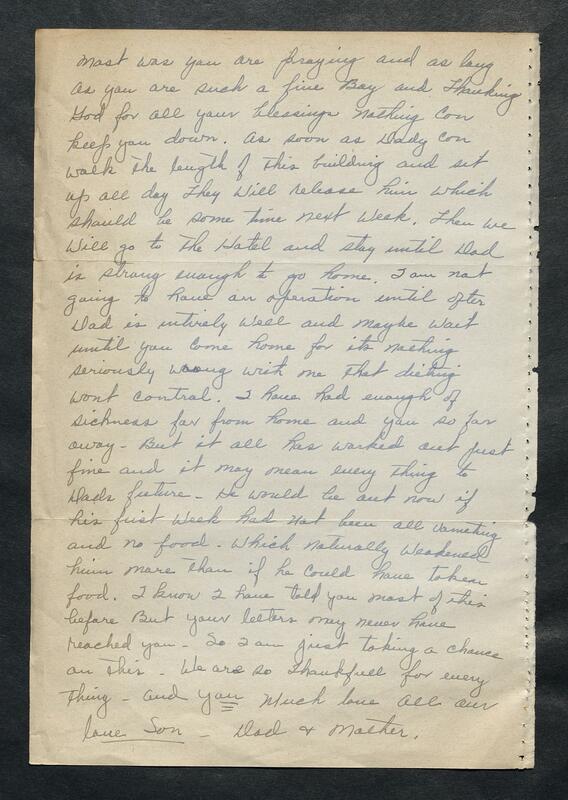 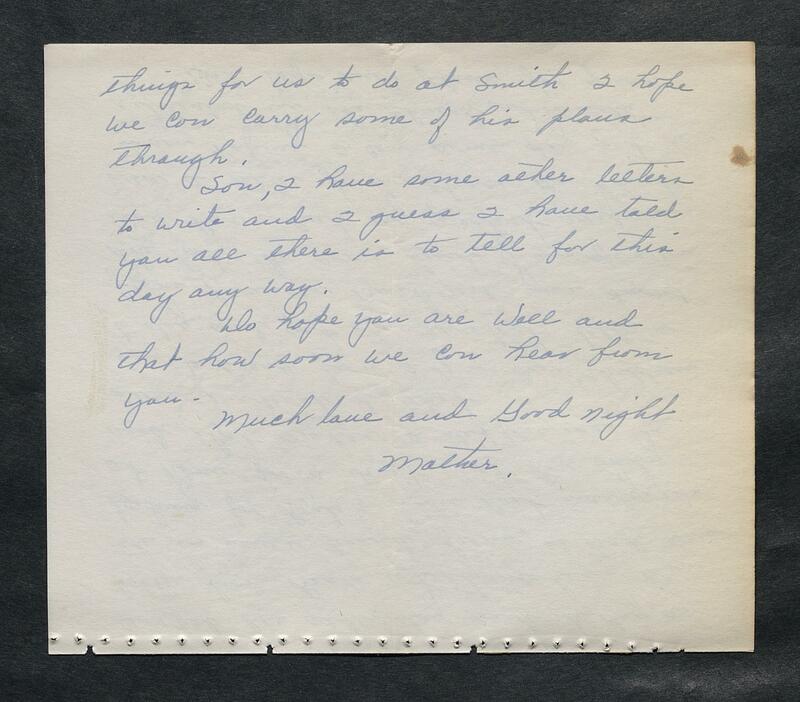 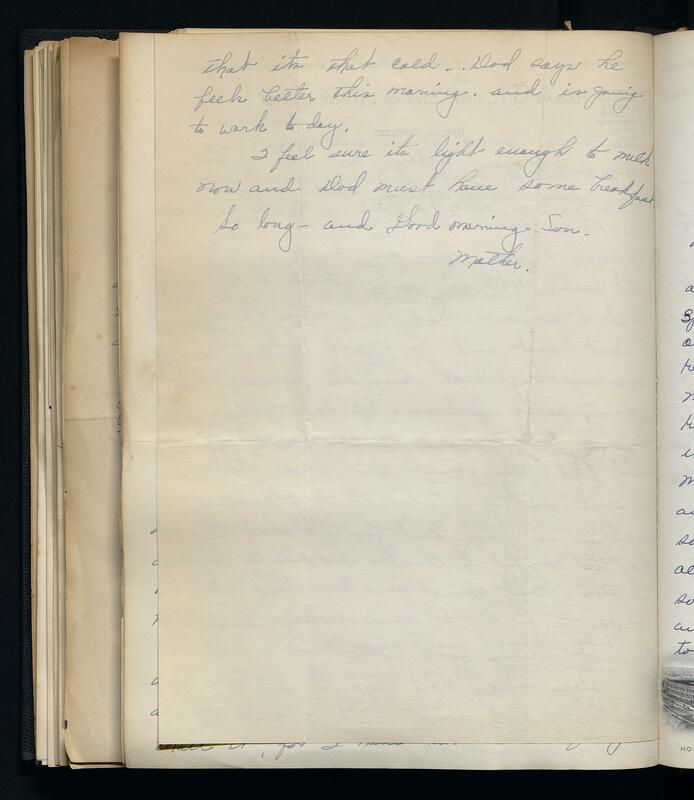 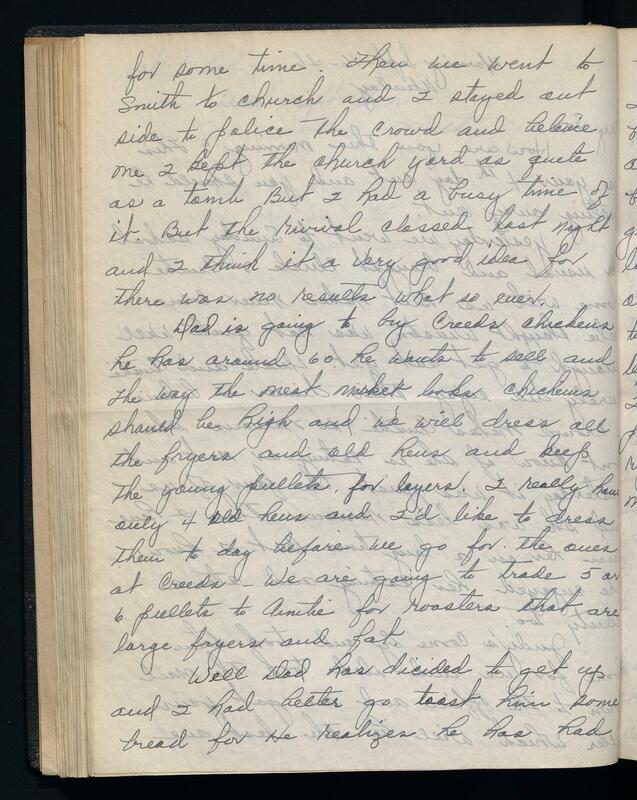 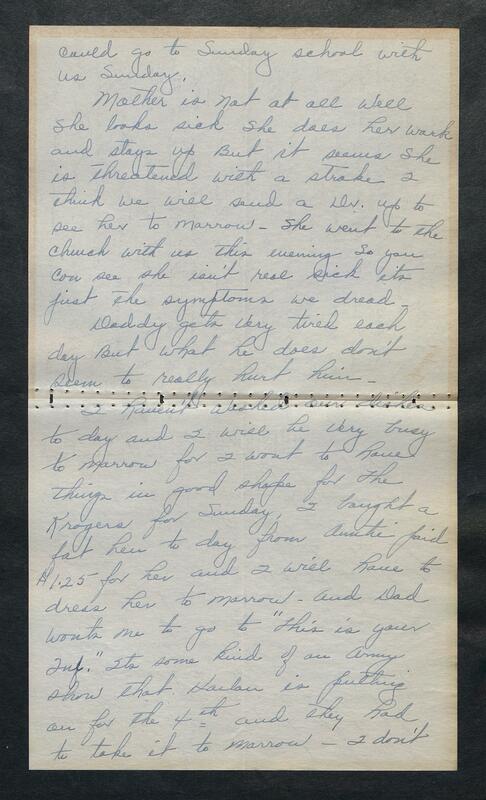 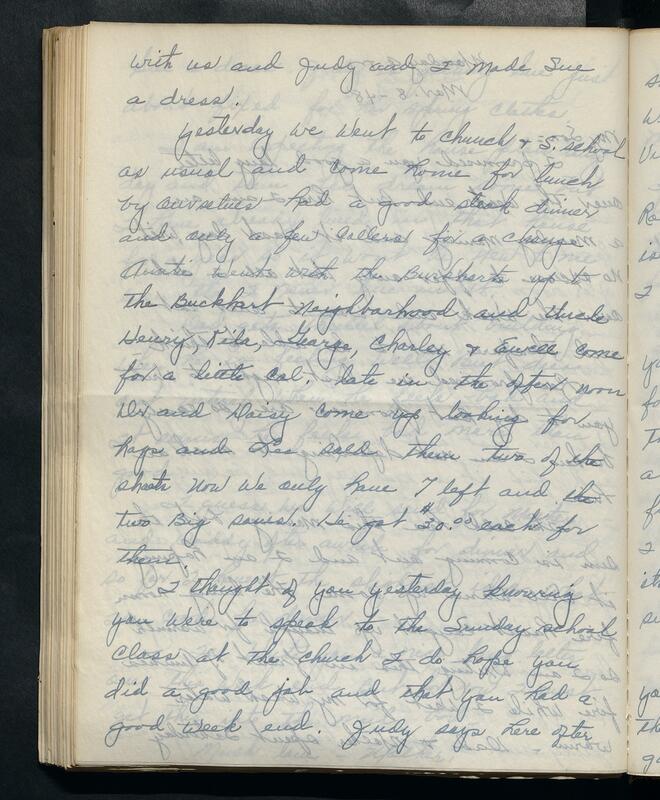 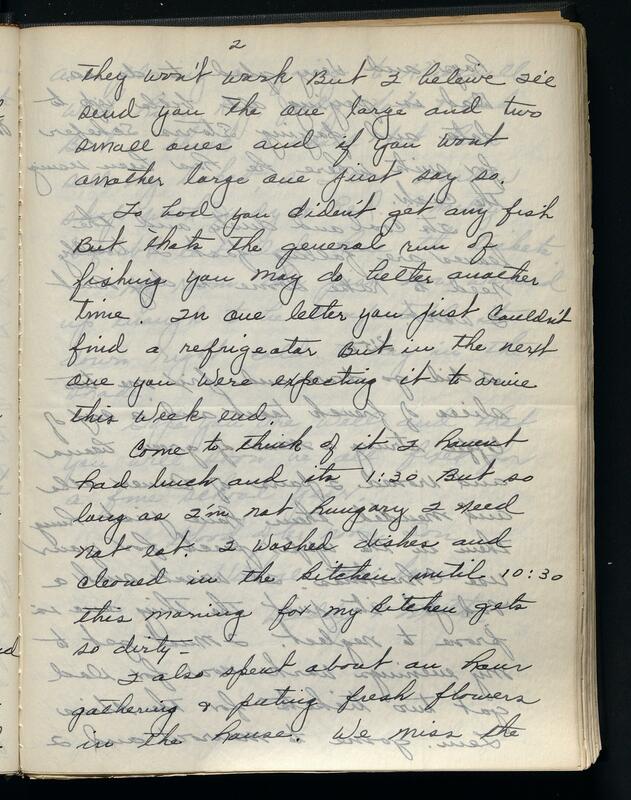 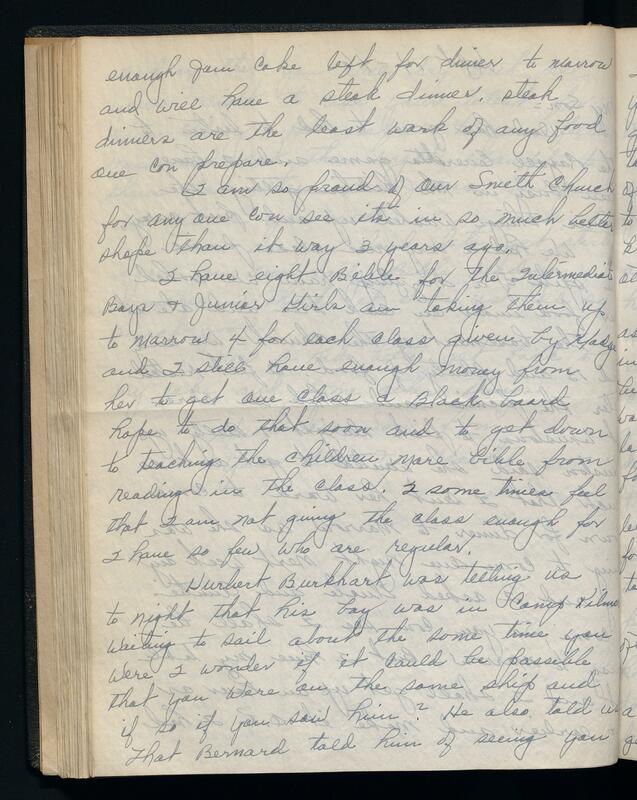 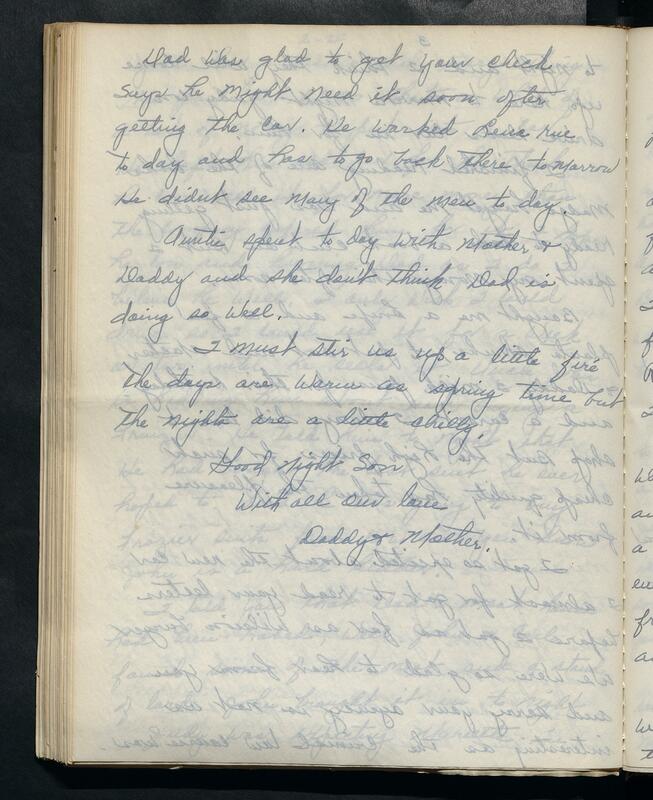 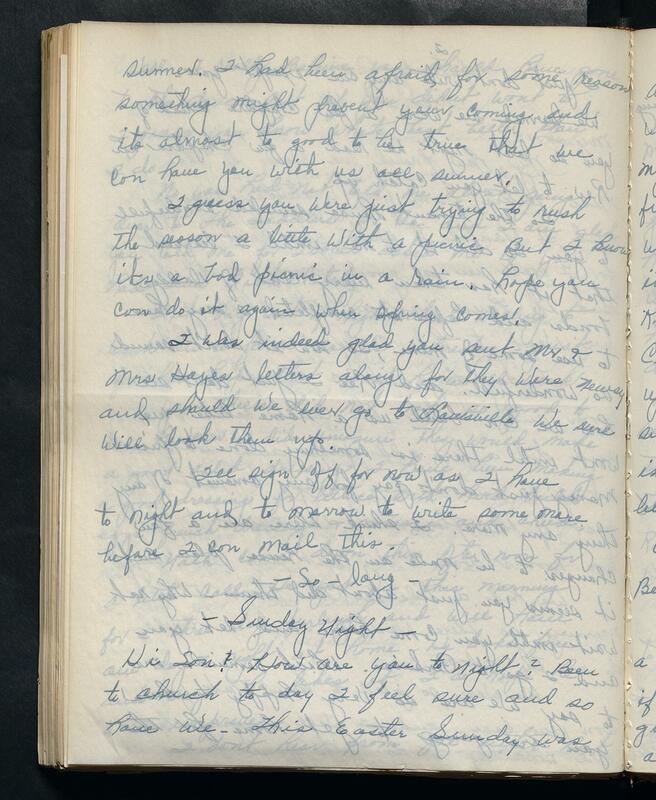 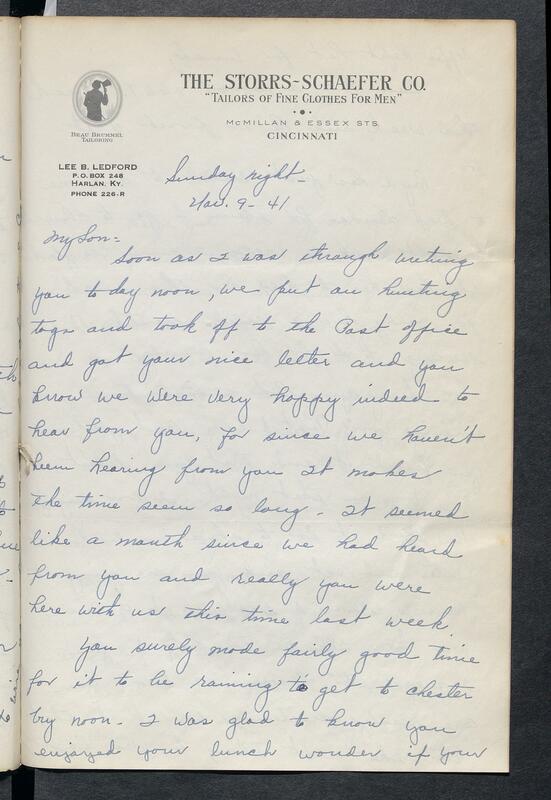 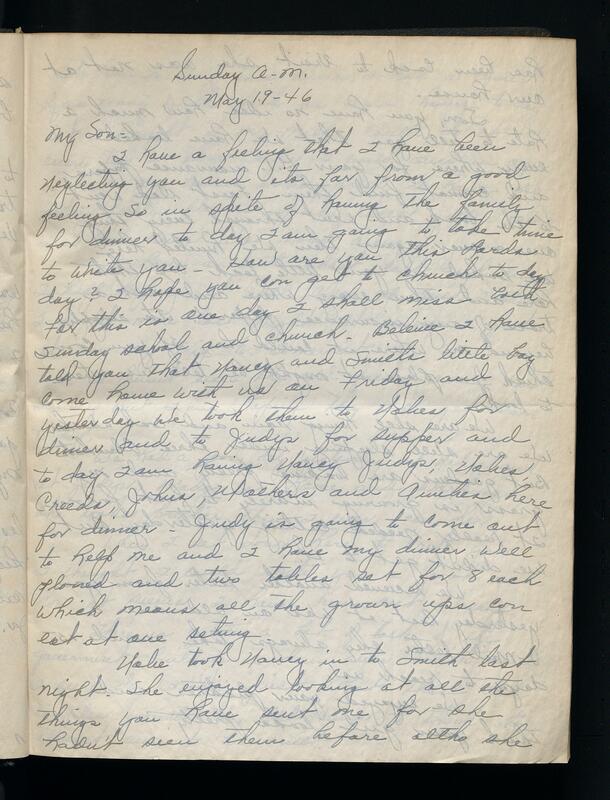 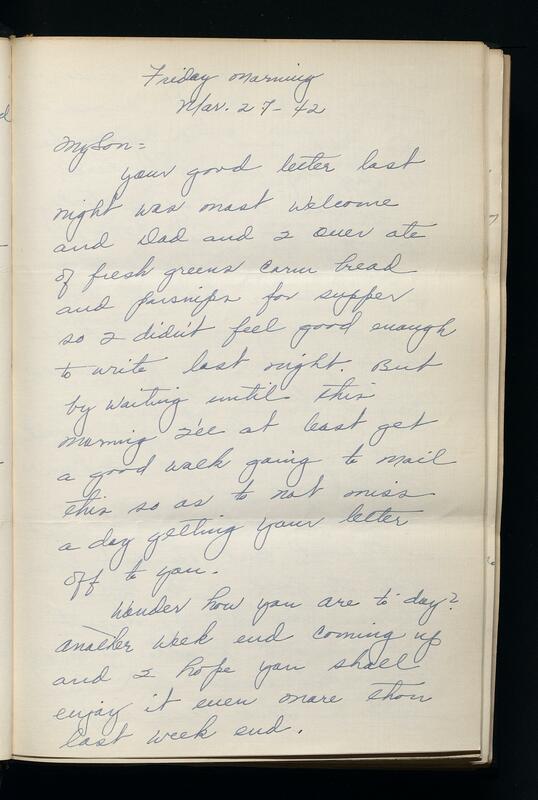 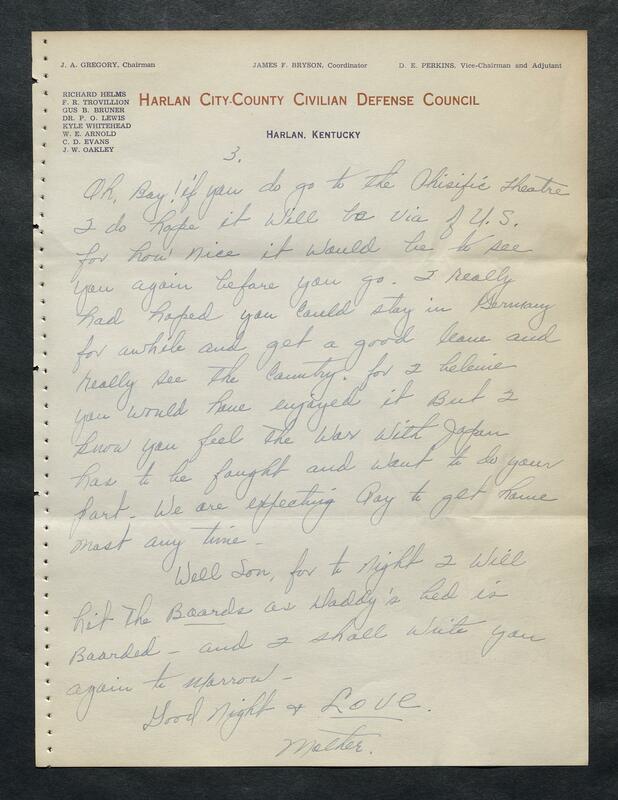 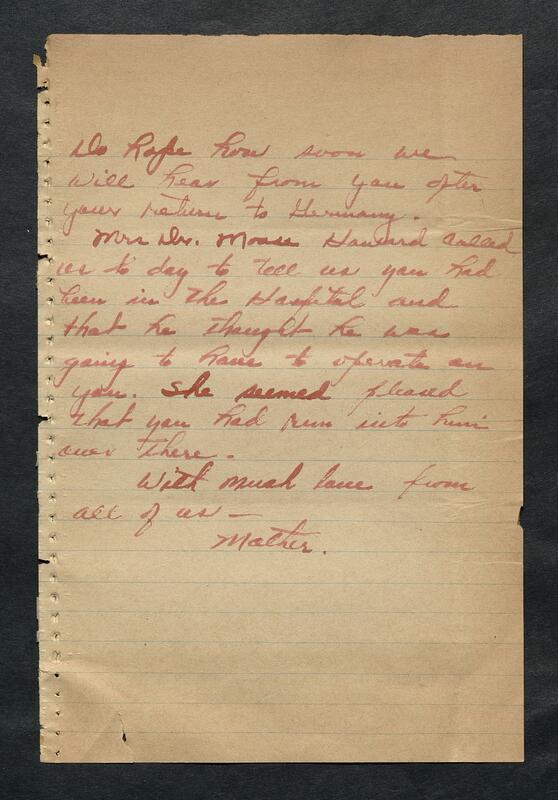 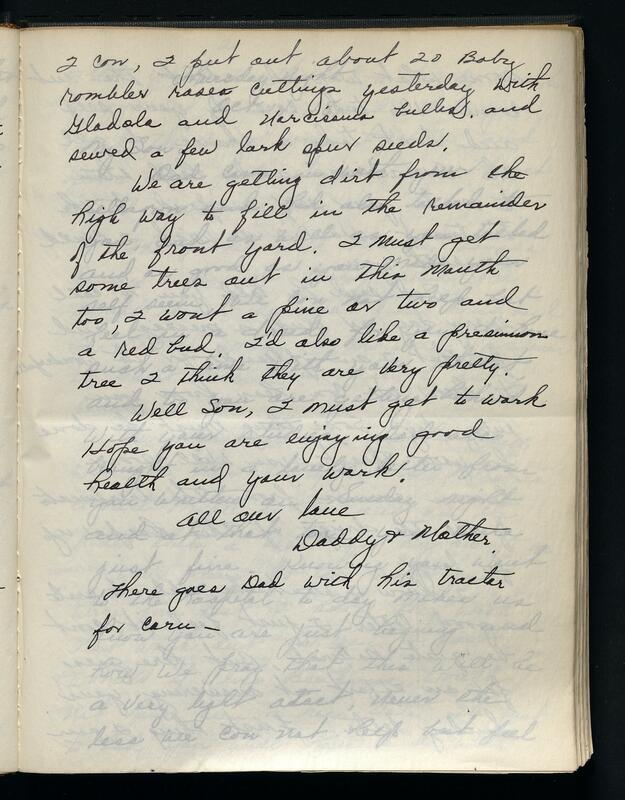 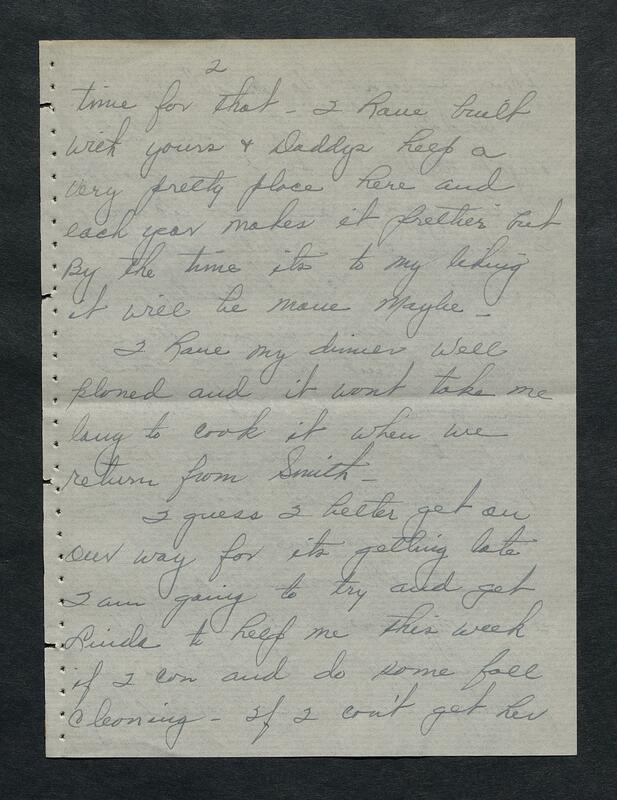 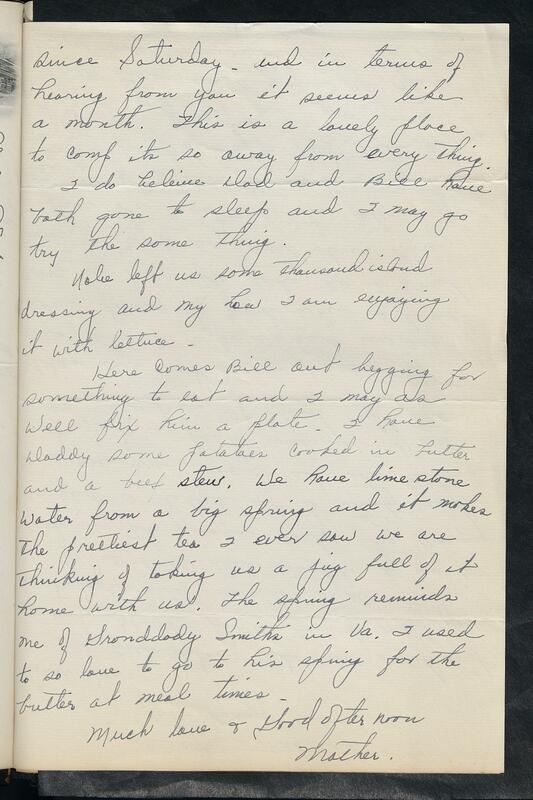 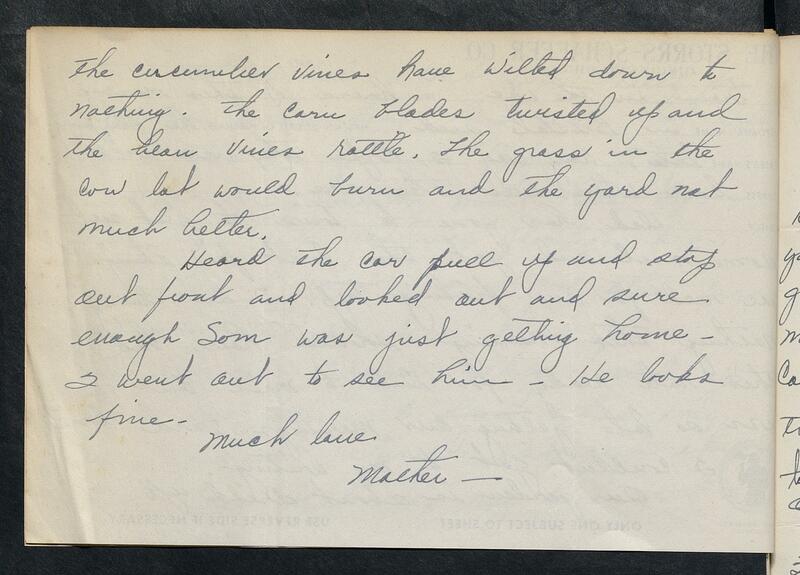 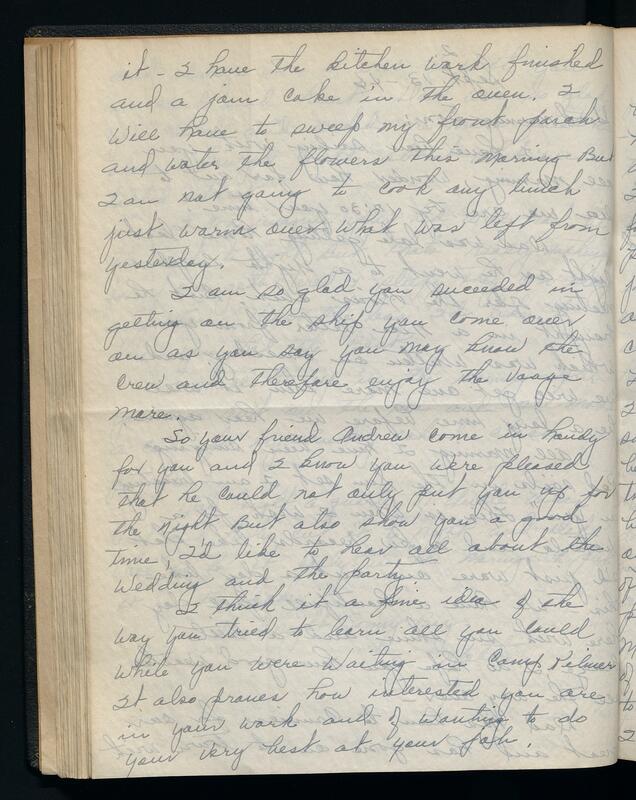 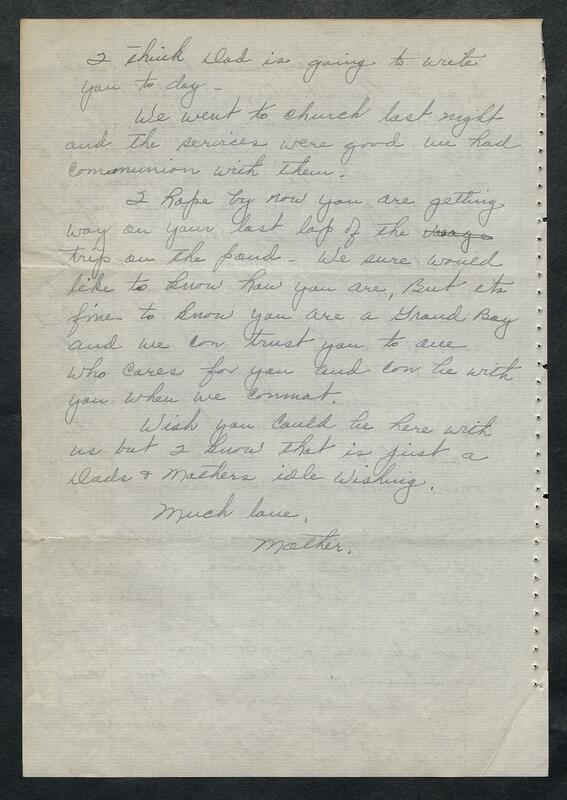 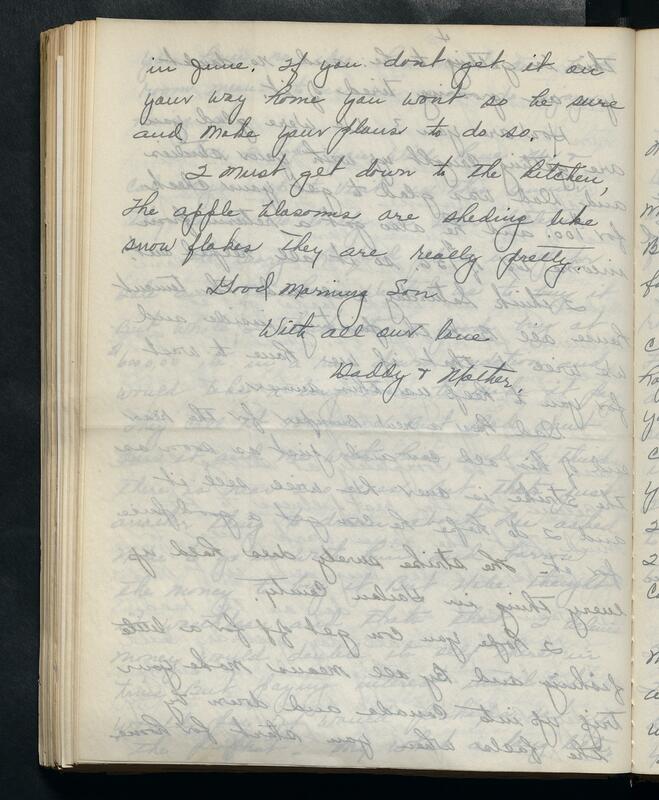 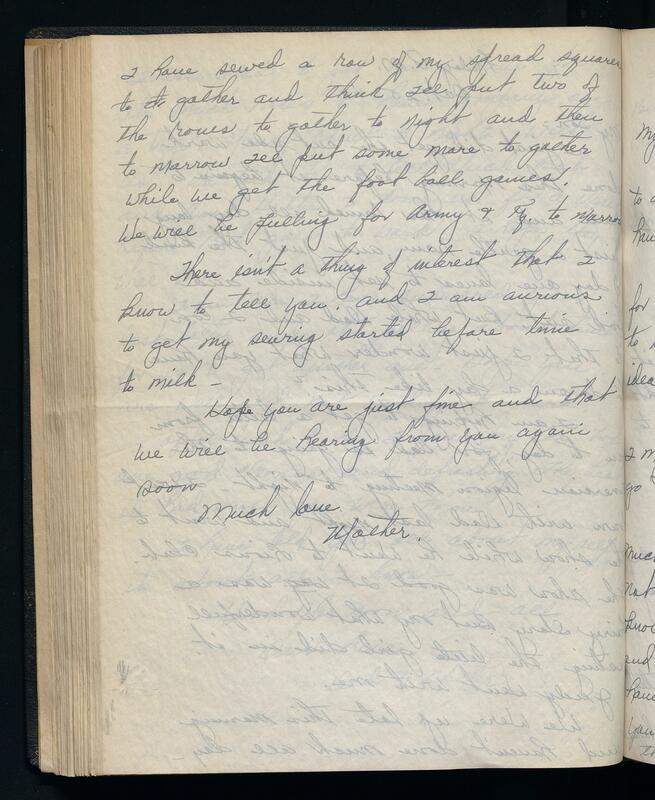 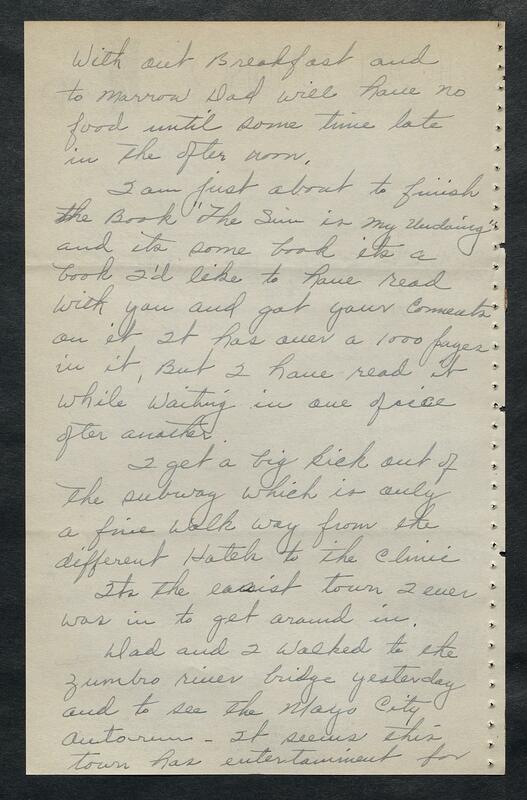 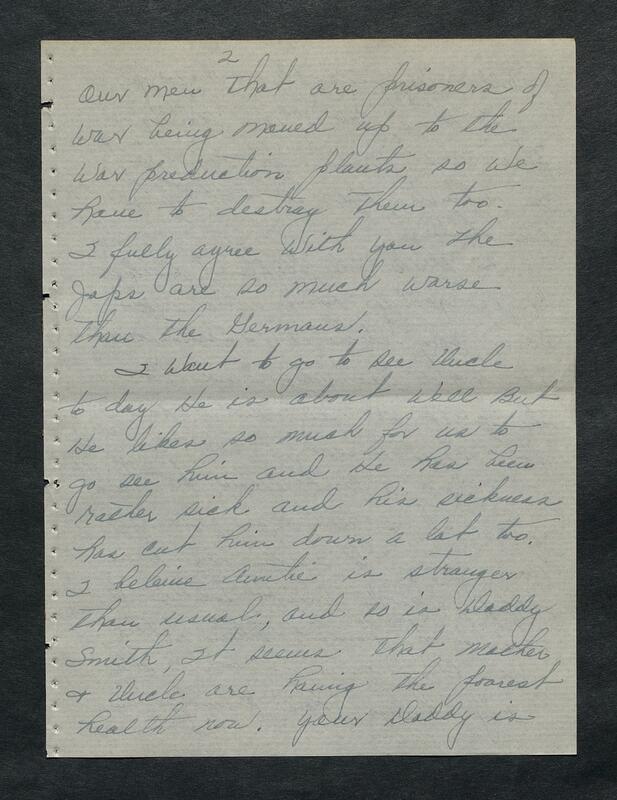 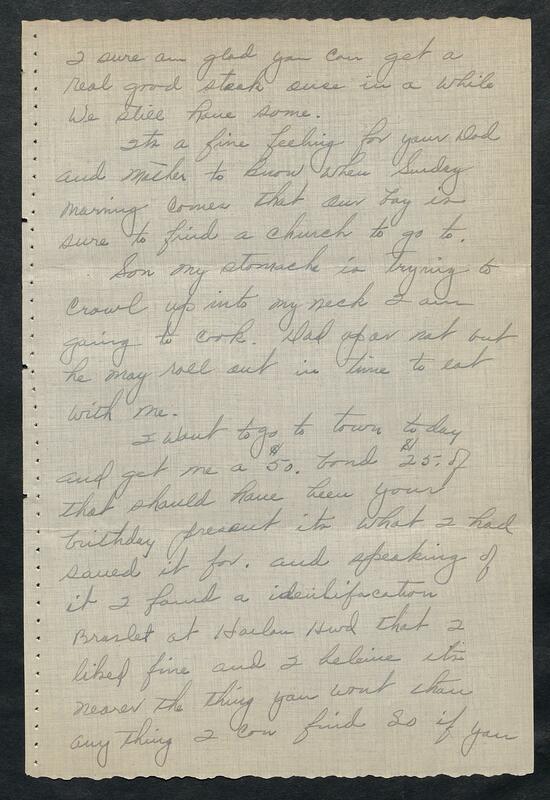 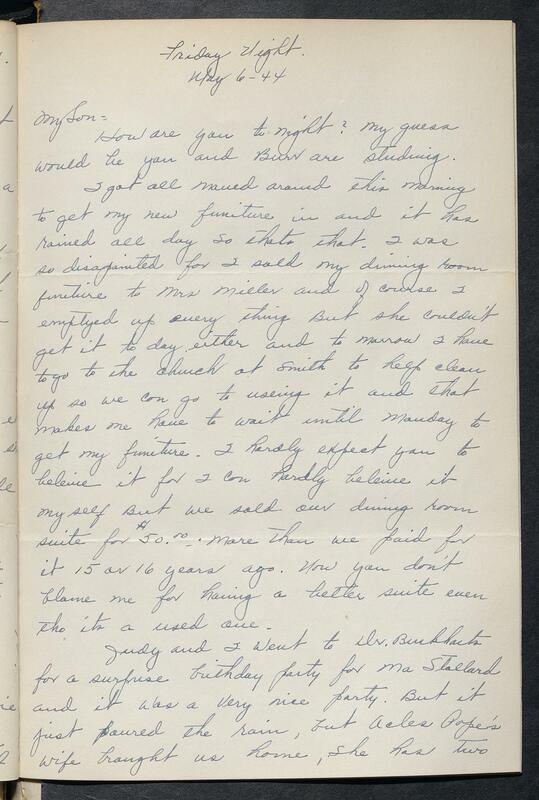 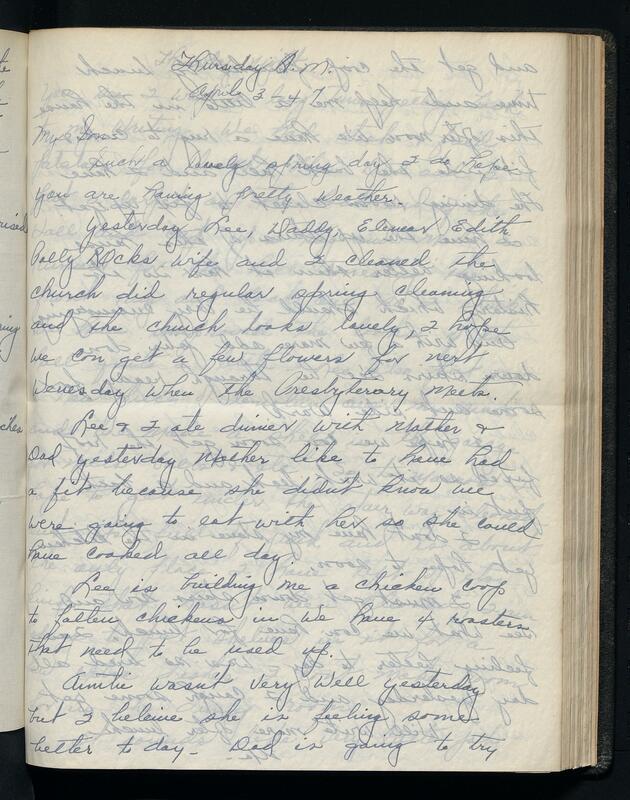 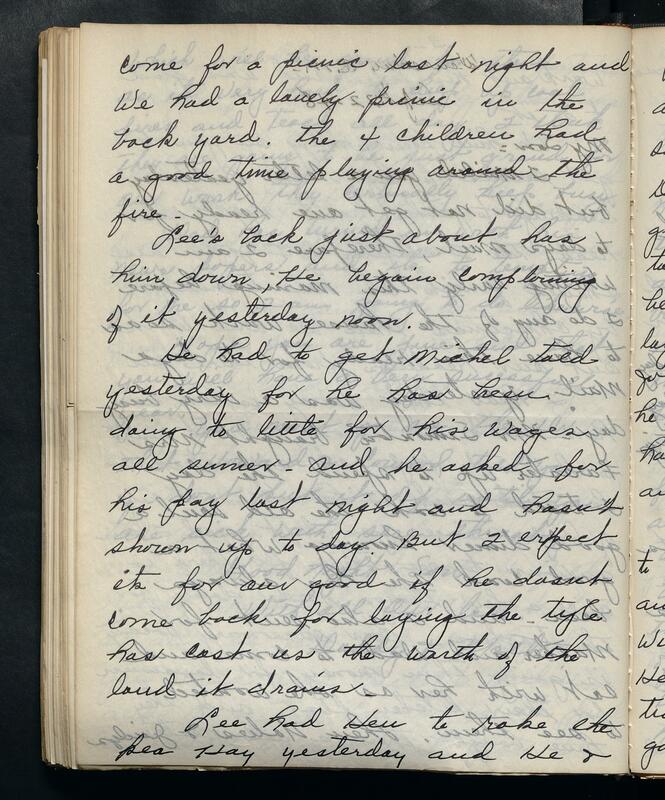 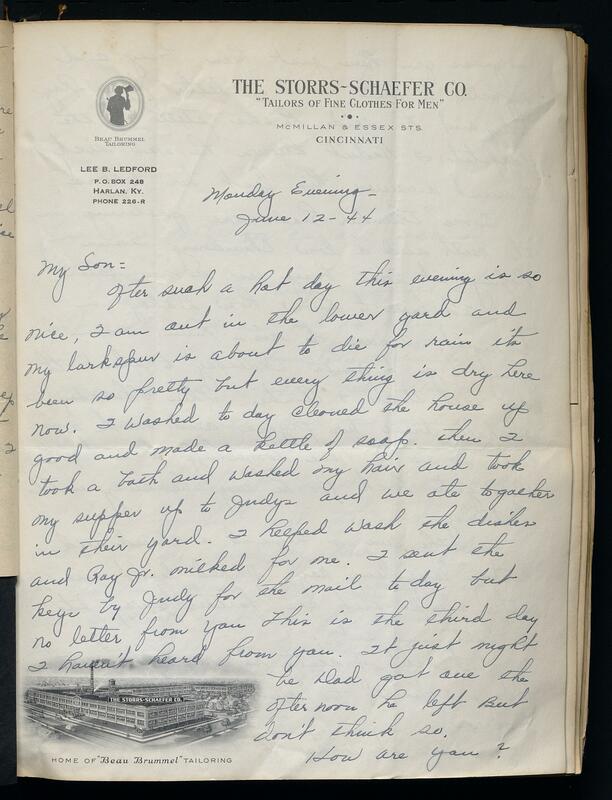 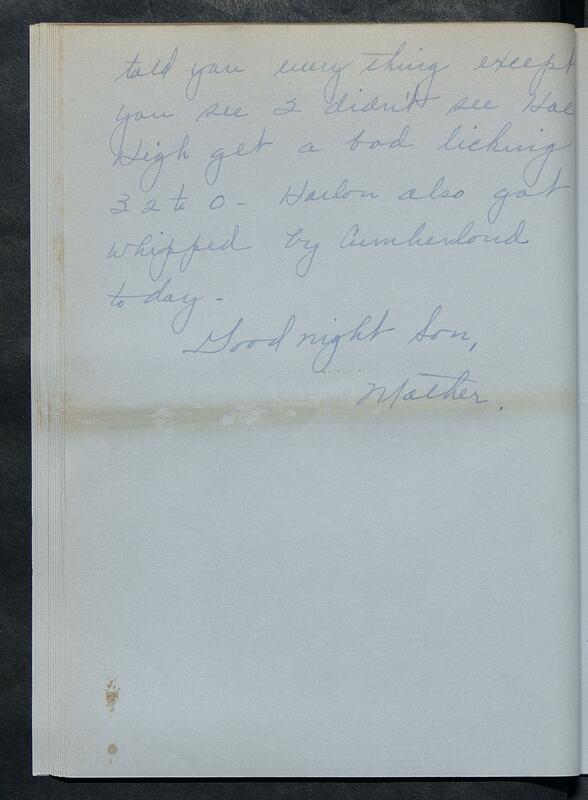 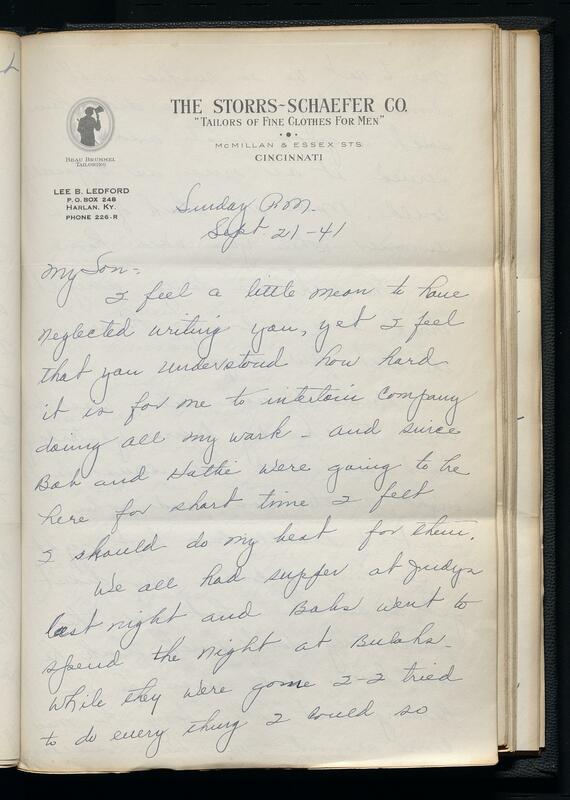 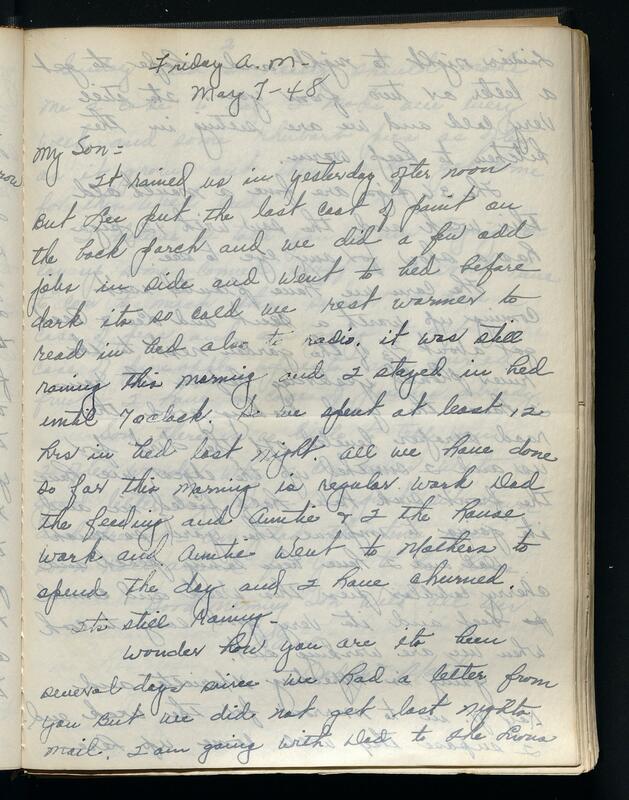 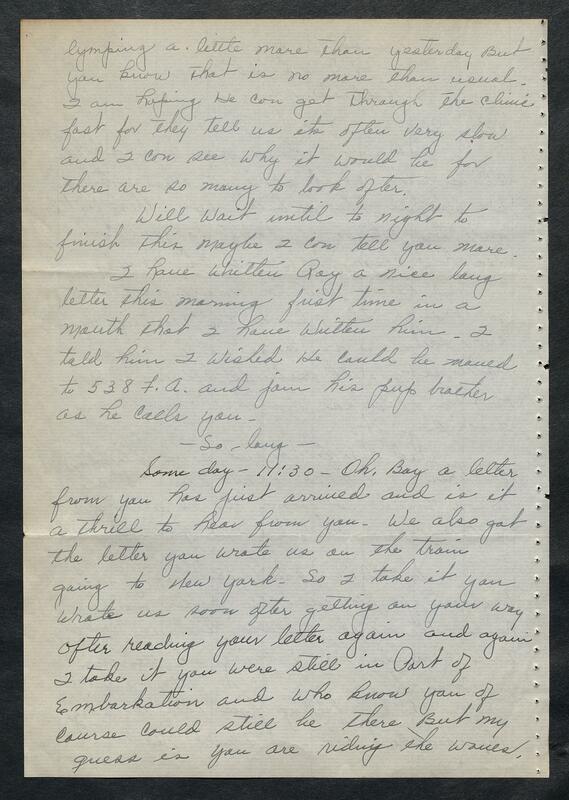 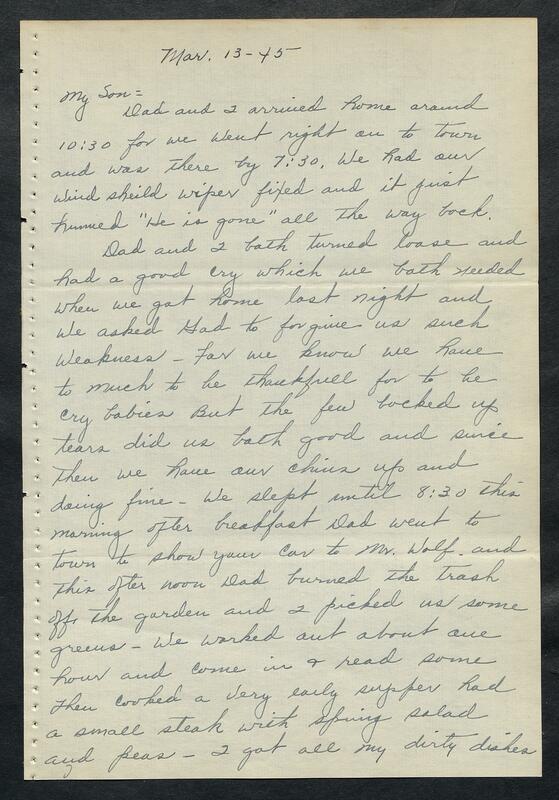 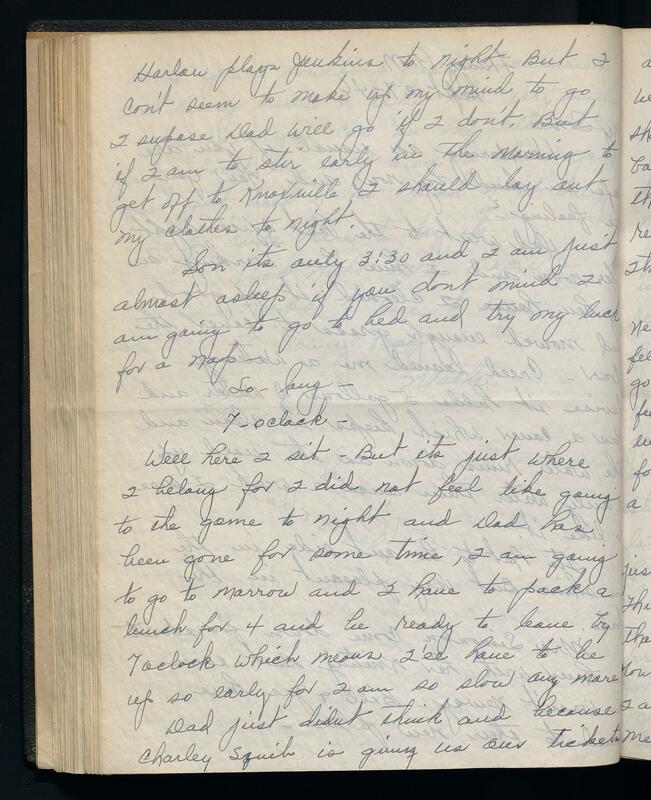 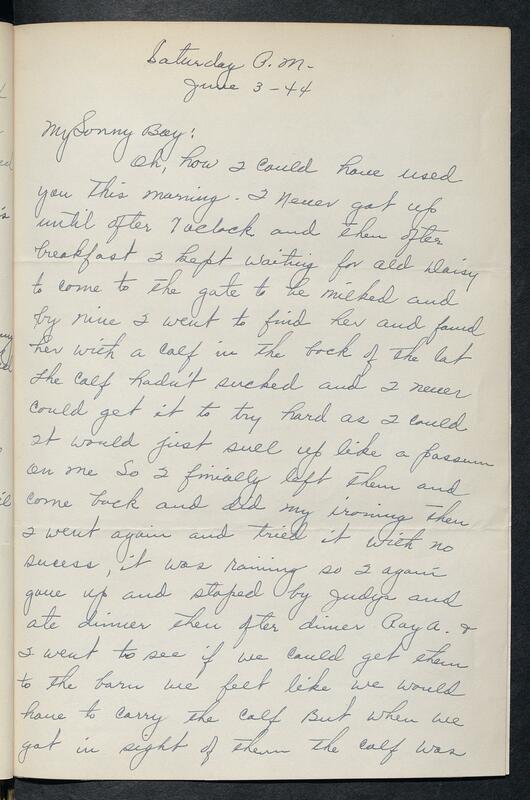 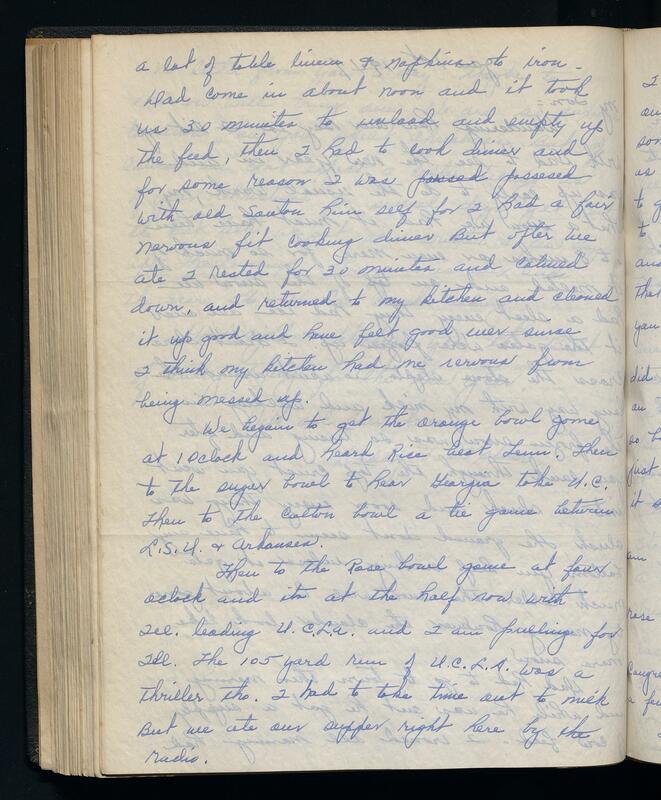 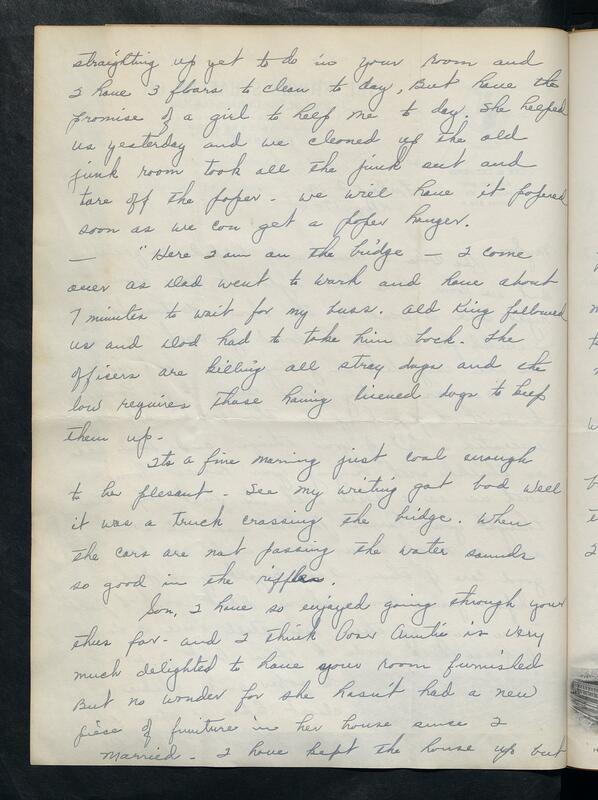 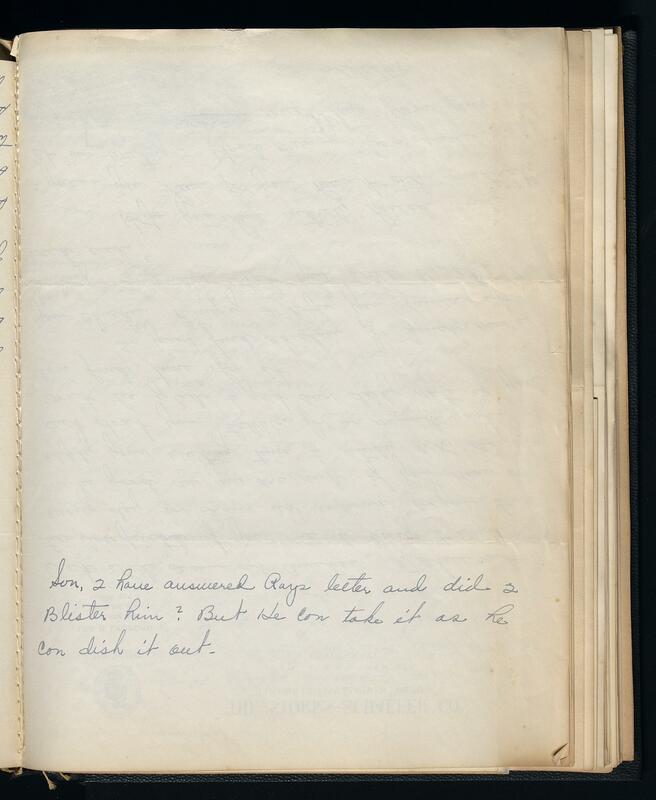 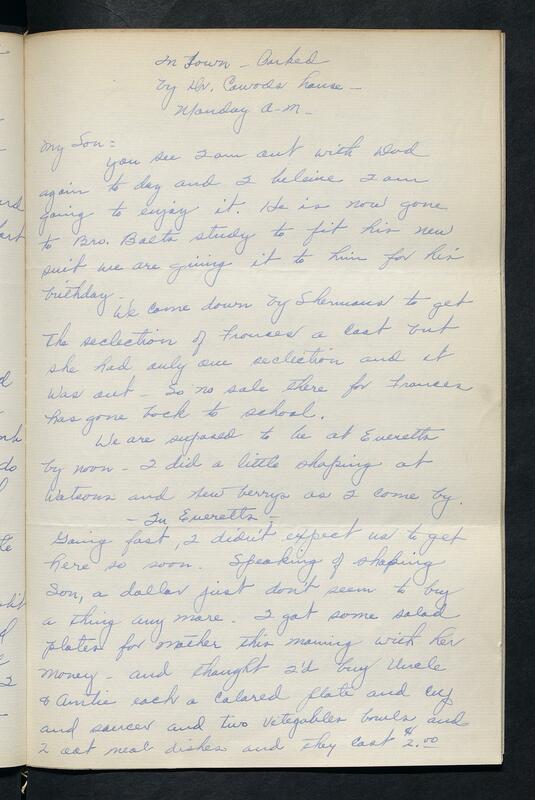 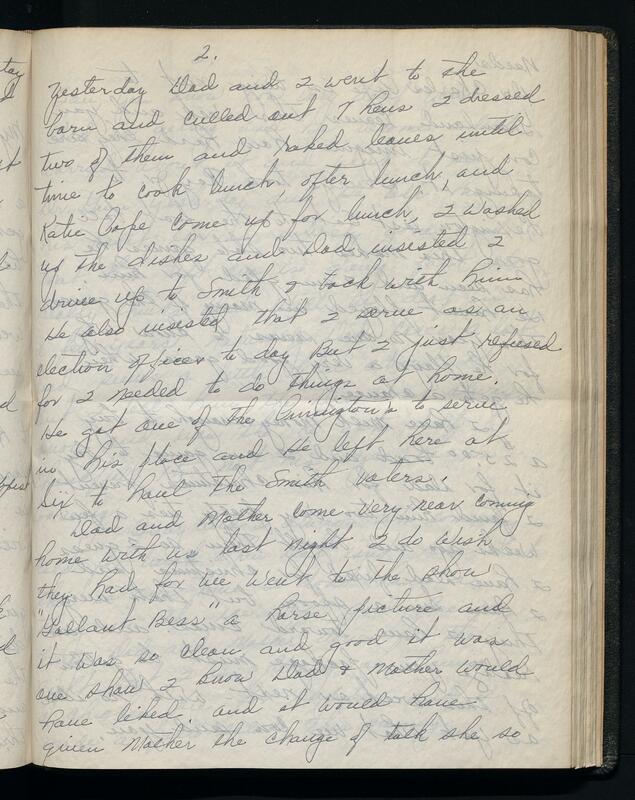 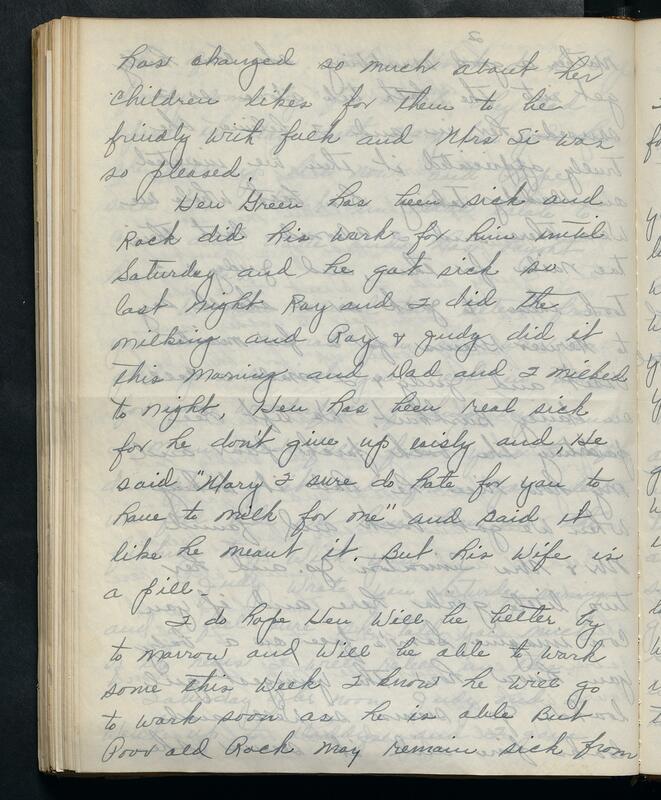 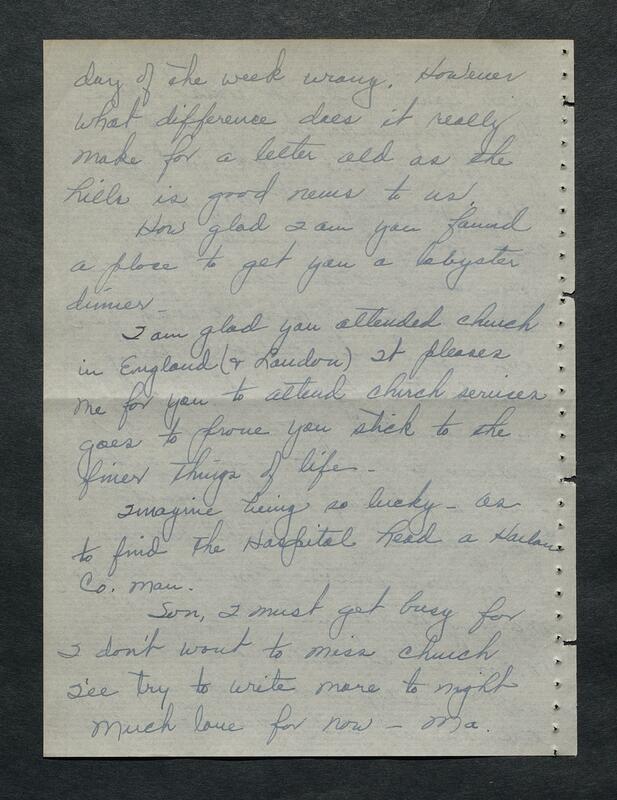 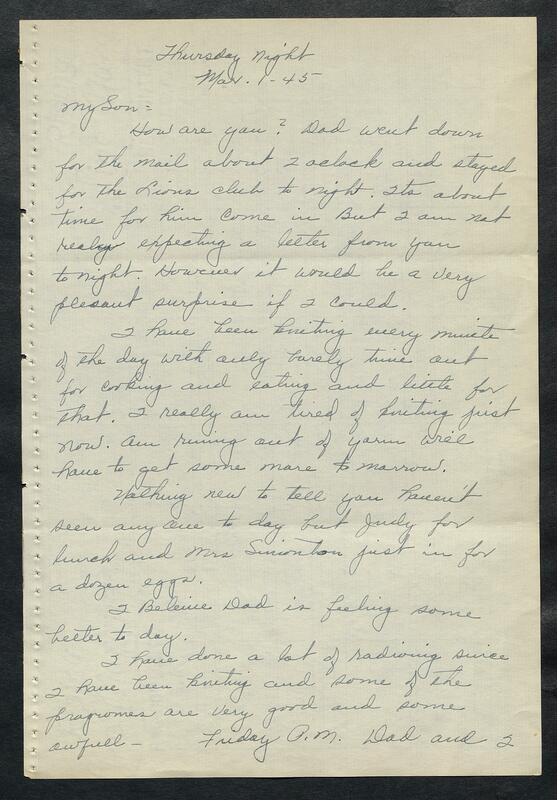 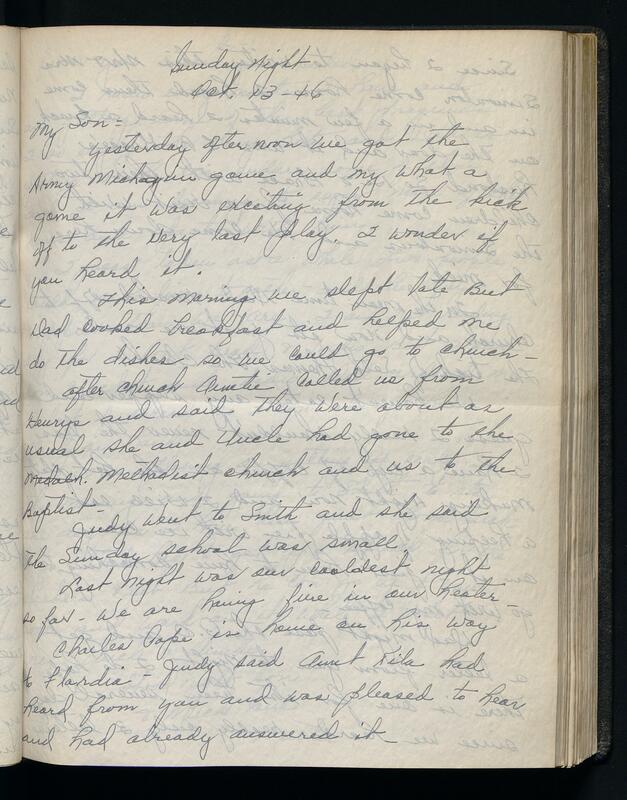 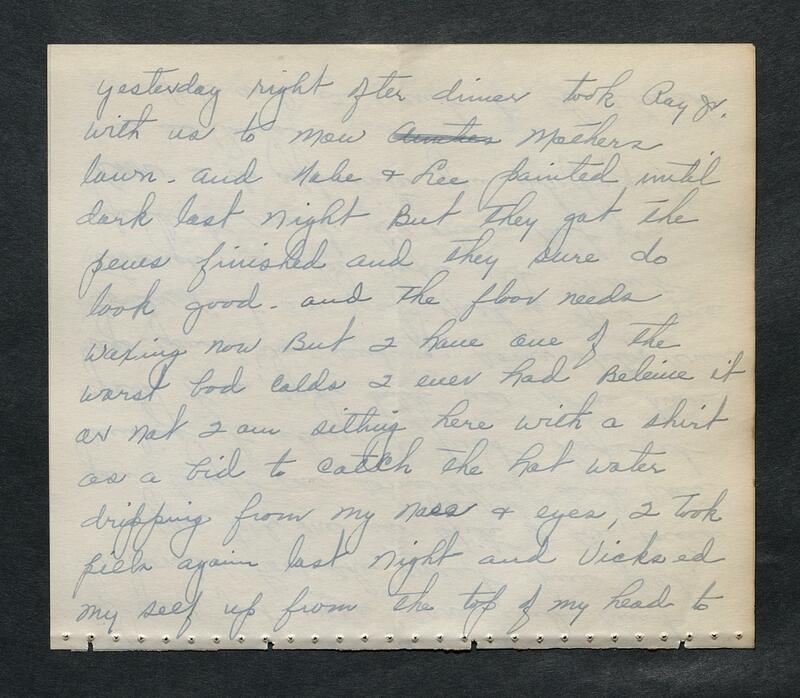 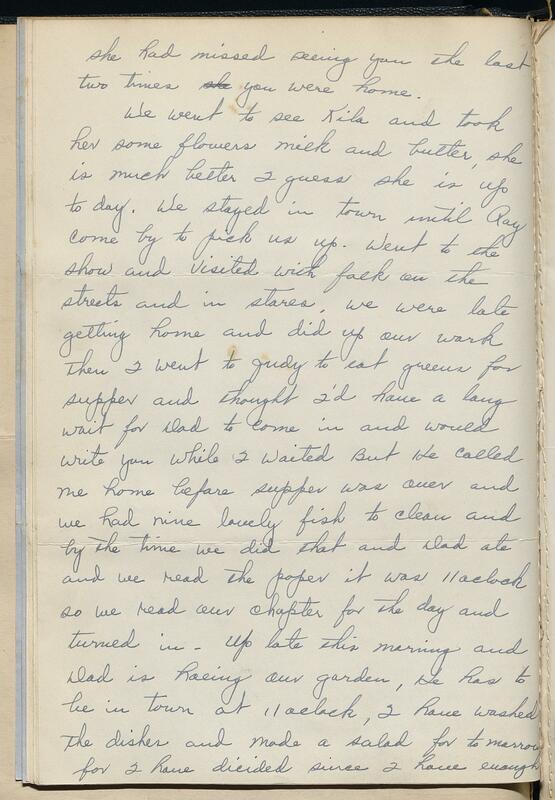 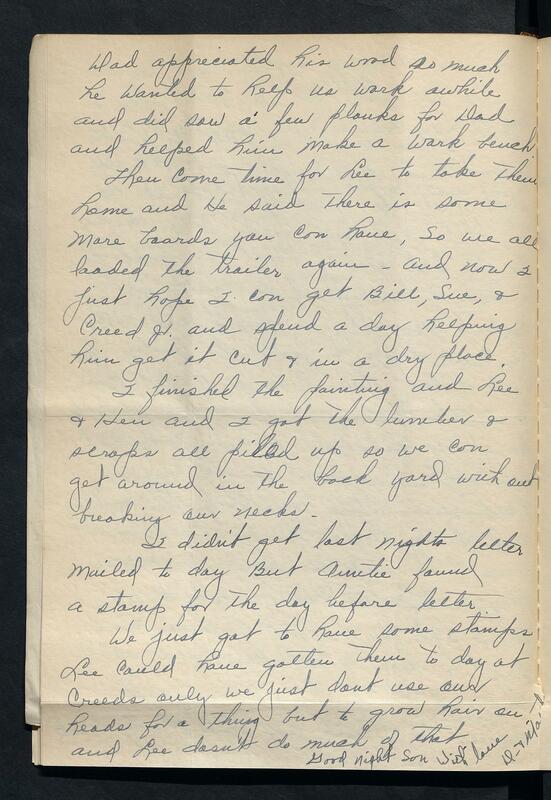 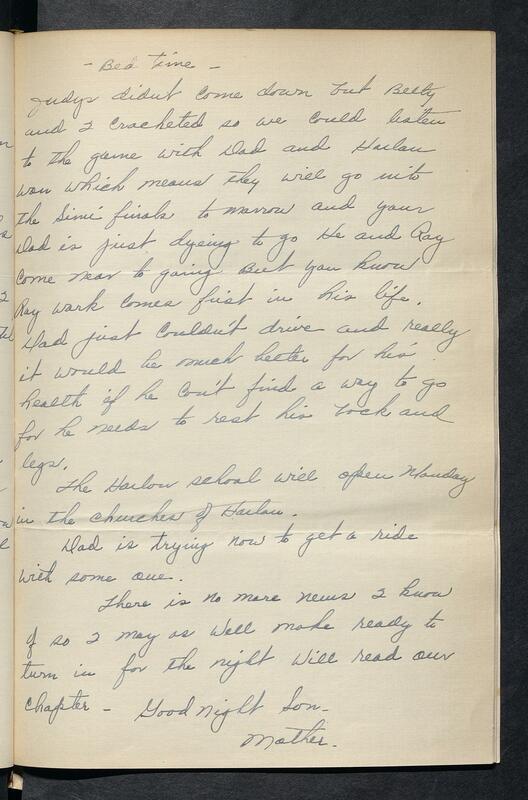 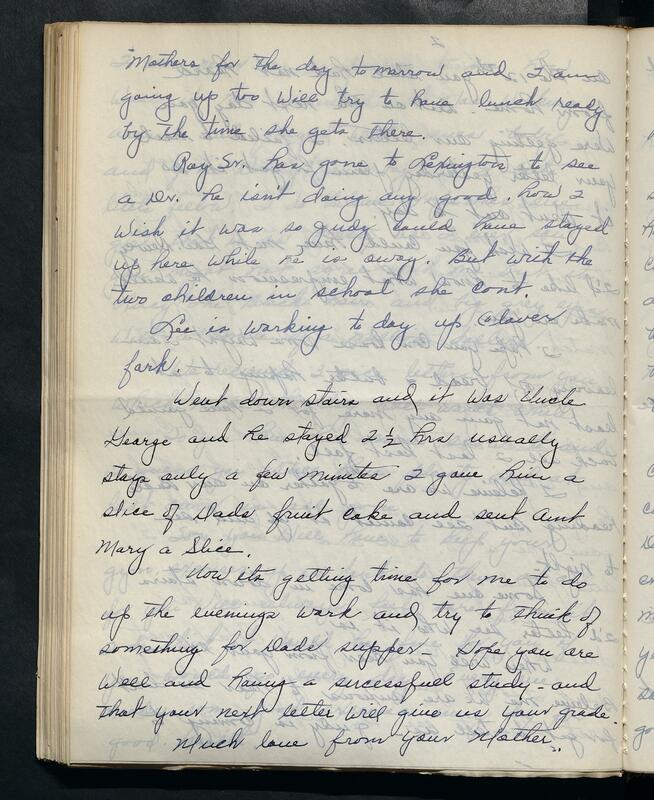 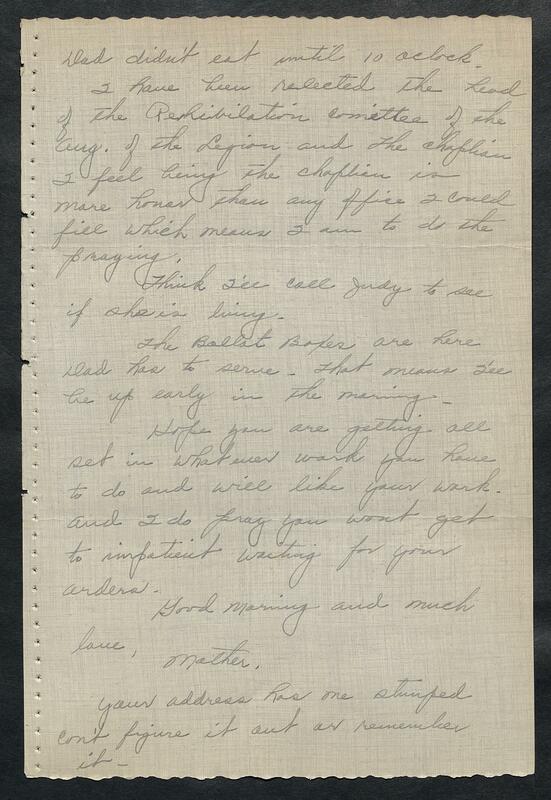 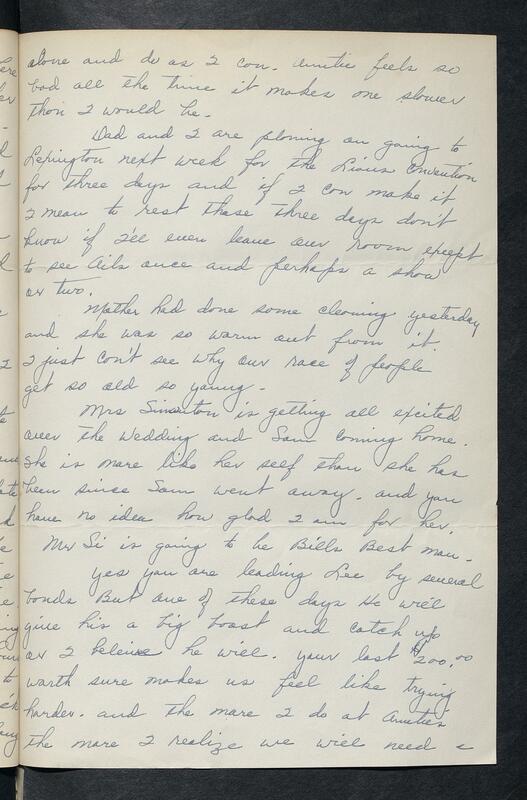 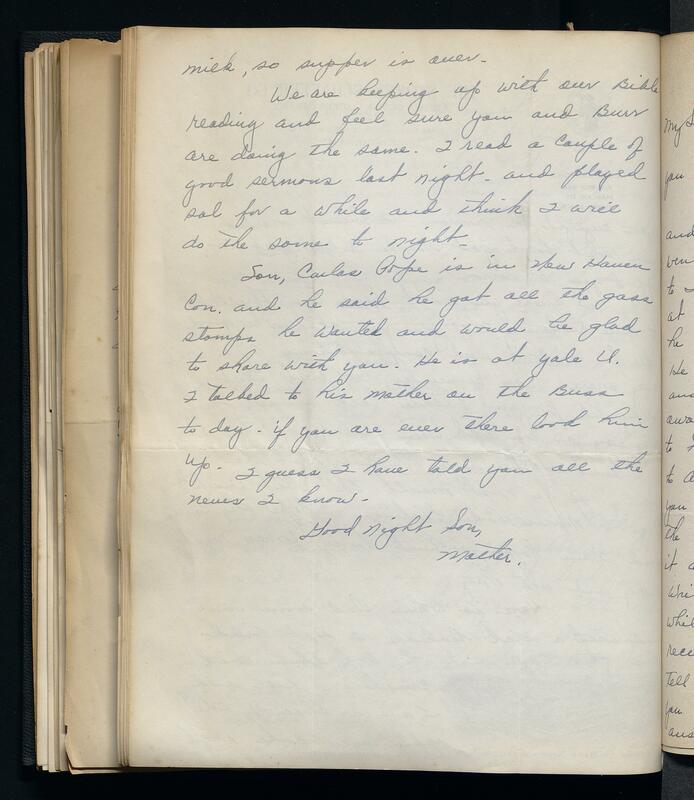 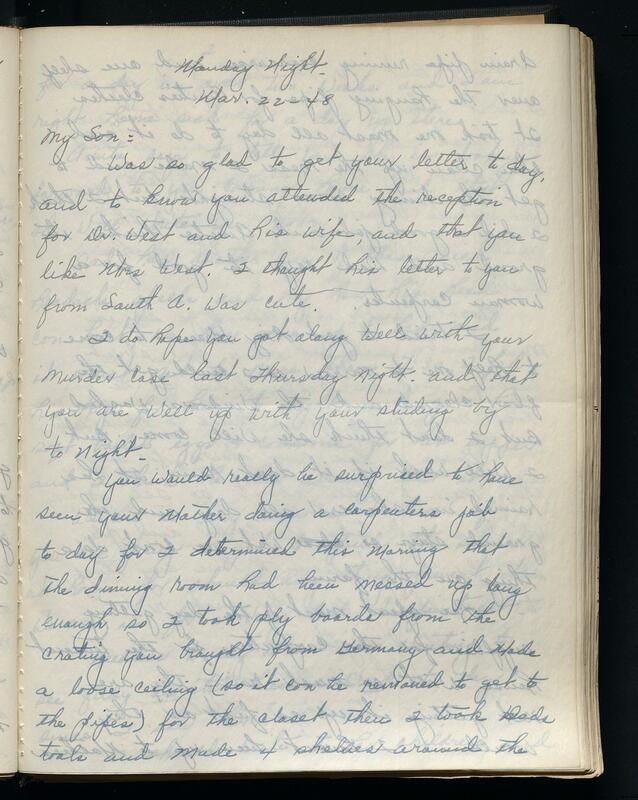 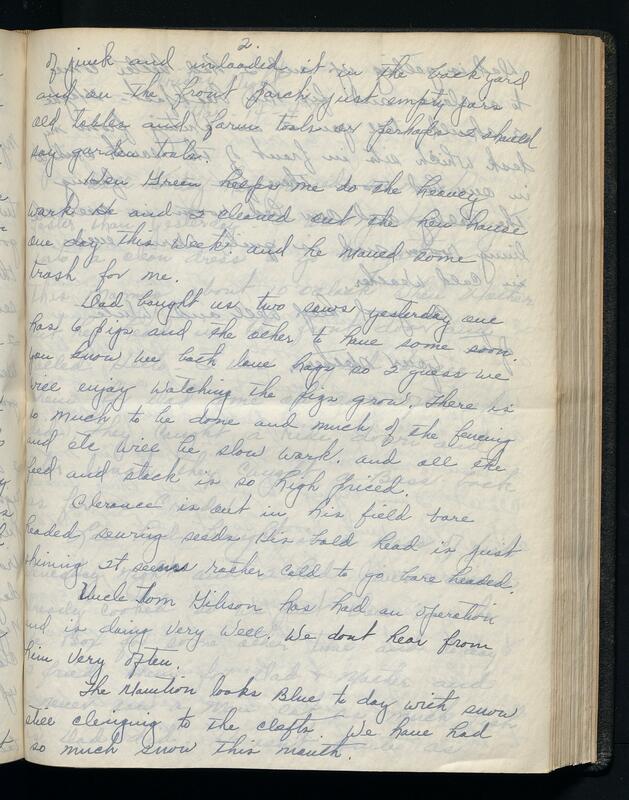 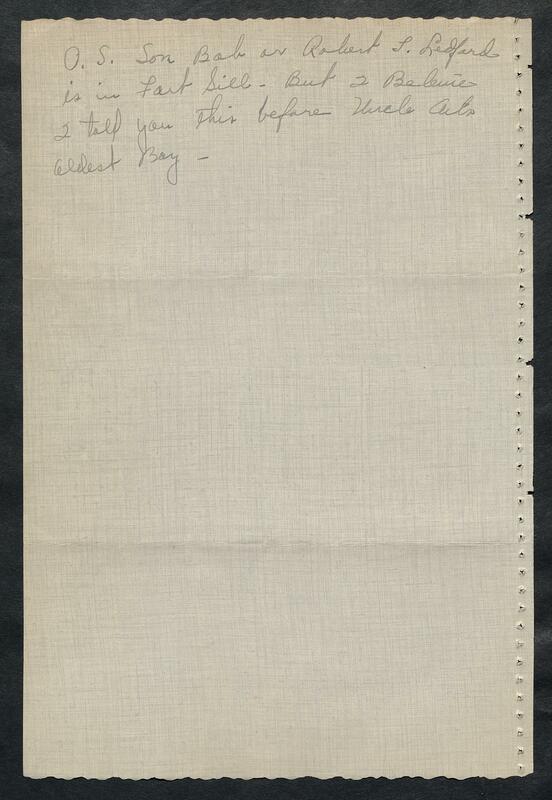 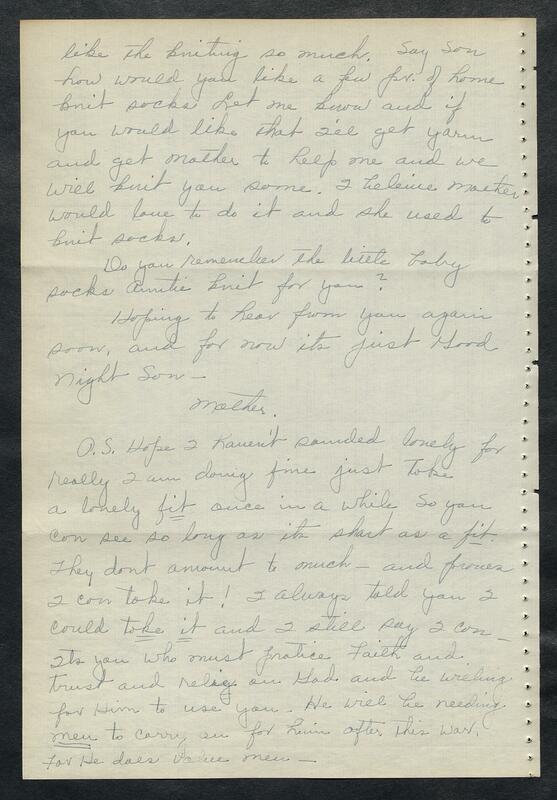 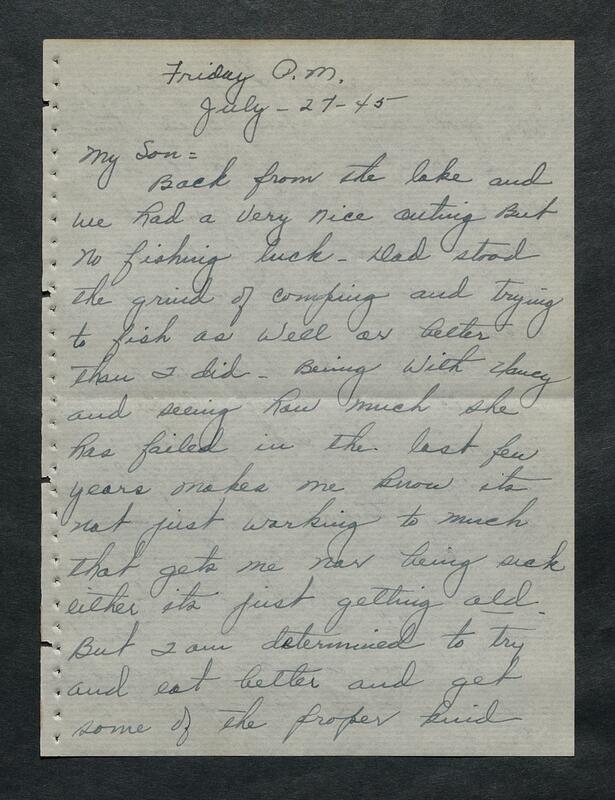 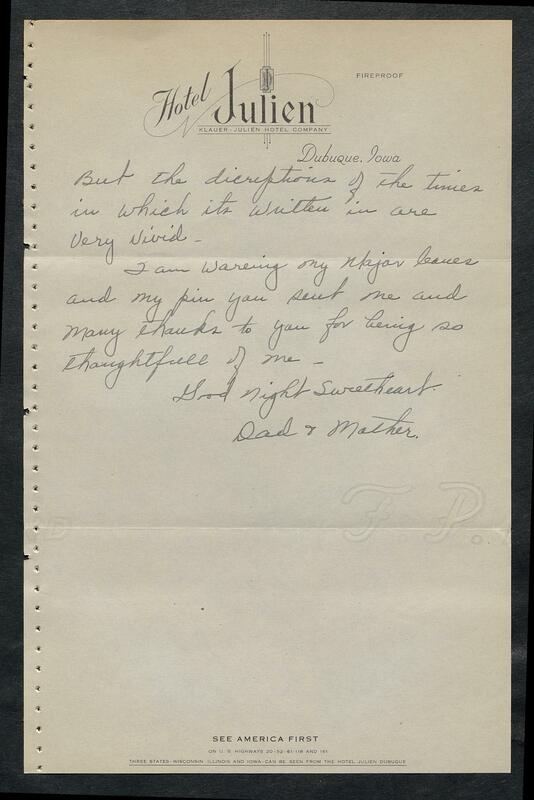 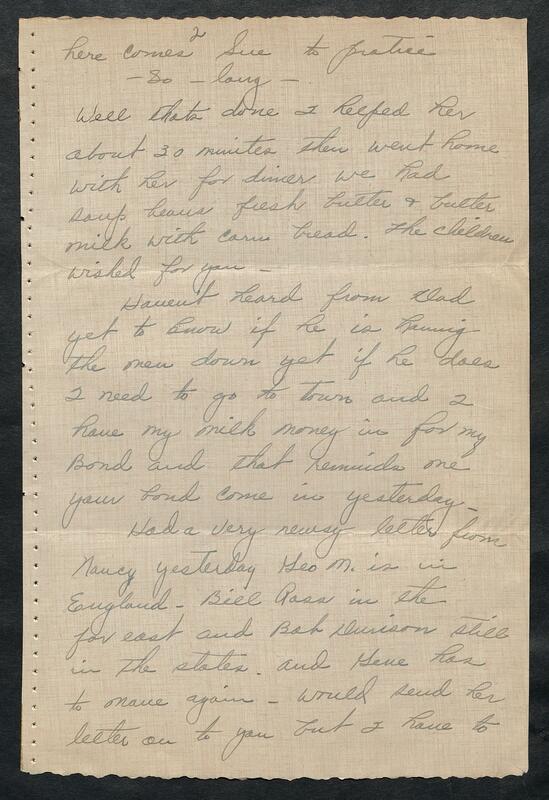 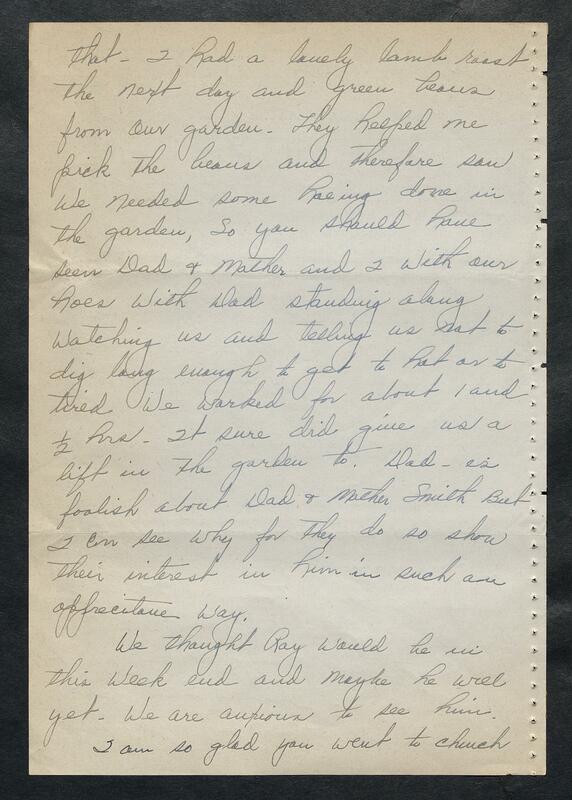 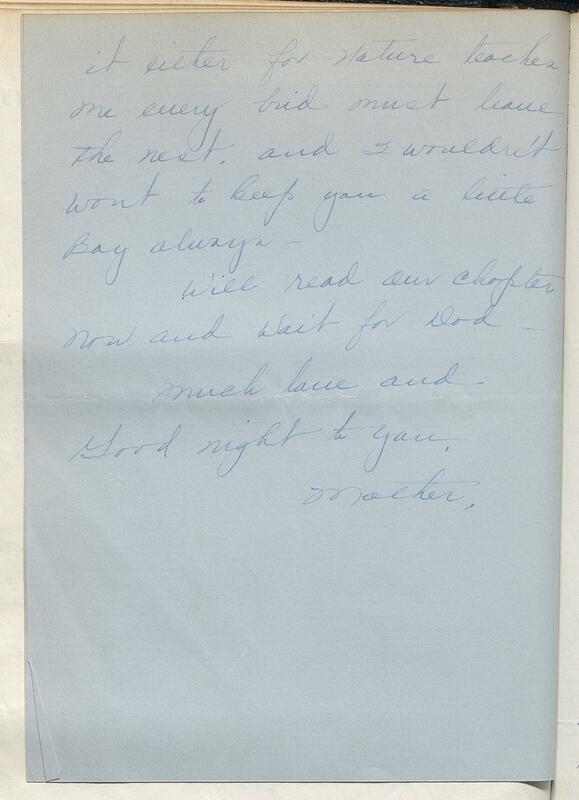 2015ms048 : [identification of item], Madge E. Smith collection of Mary Ledford letters, 1942-1973, University of Kentucky Special Collections Research Center. 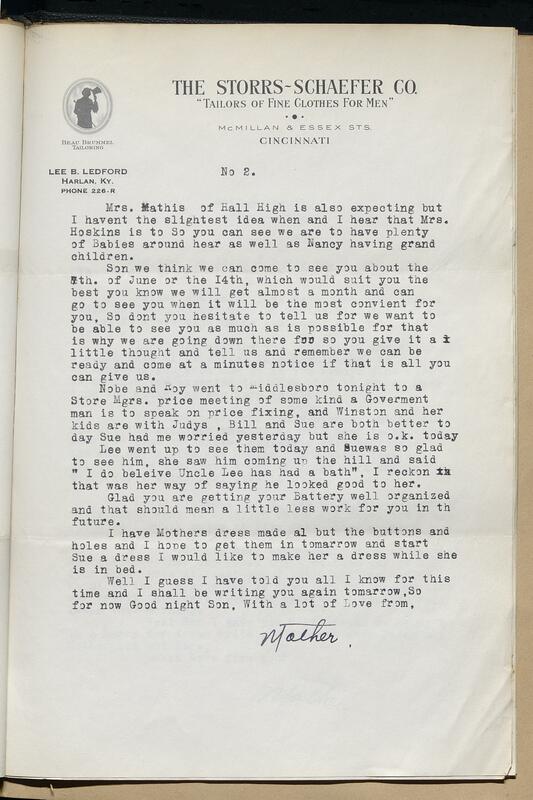 Mary Smith Ledford (1896-1988) was born in Harlan County, Kentucky, where she spent most of her life. 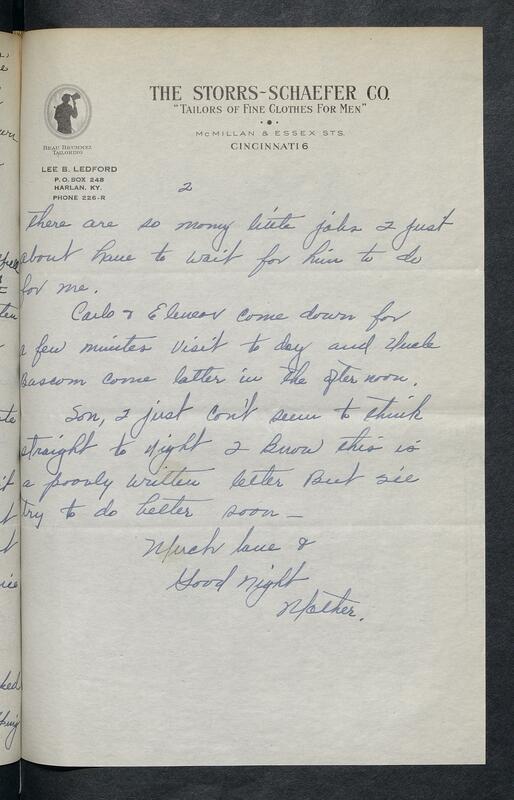 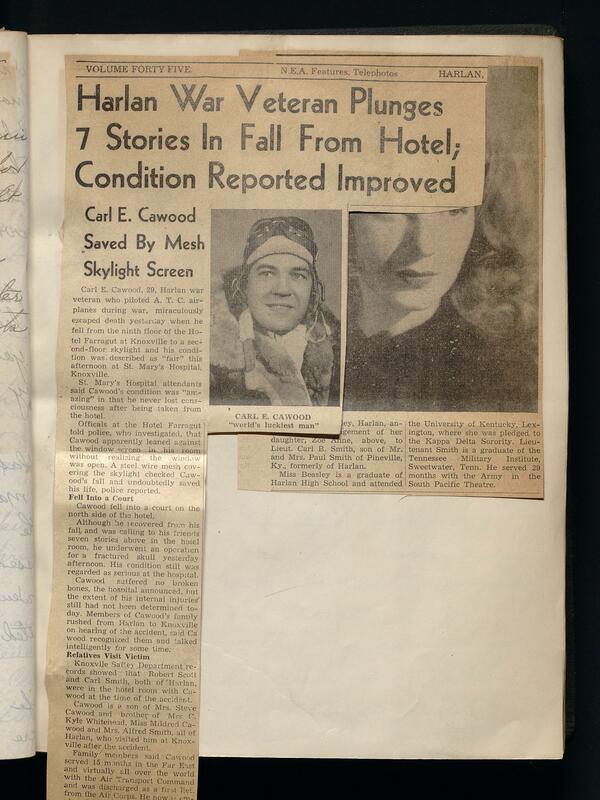 She met her husband Leander (Lee) Ledford, Sr. while attending Berea College. 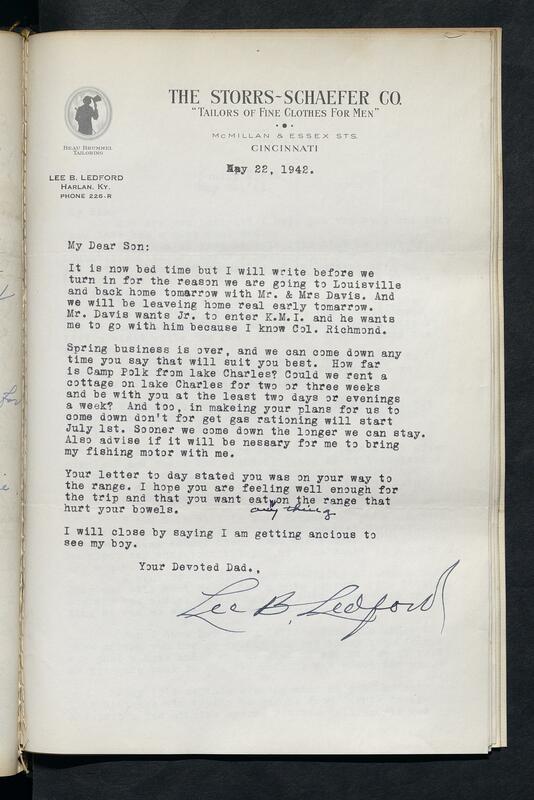 During their marriage they owned a farm in Harlan County and raised two sons; Lee Ledford, Jr. and Virgil Mac Ledford. 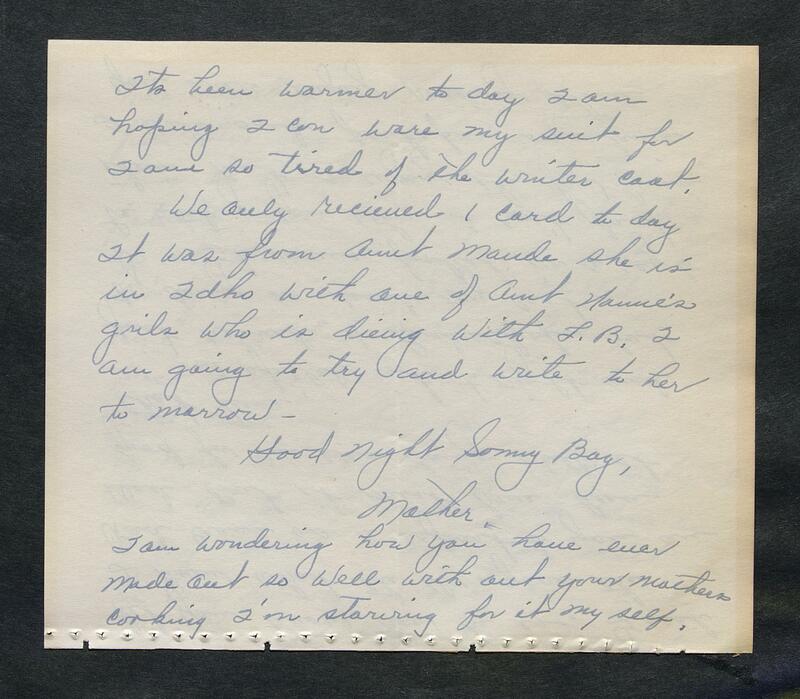 After the death of her husband in 1973, Mary moved to New York with her son Lee Ledford, Jr. where she lived until her death in 1988. 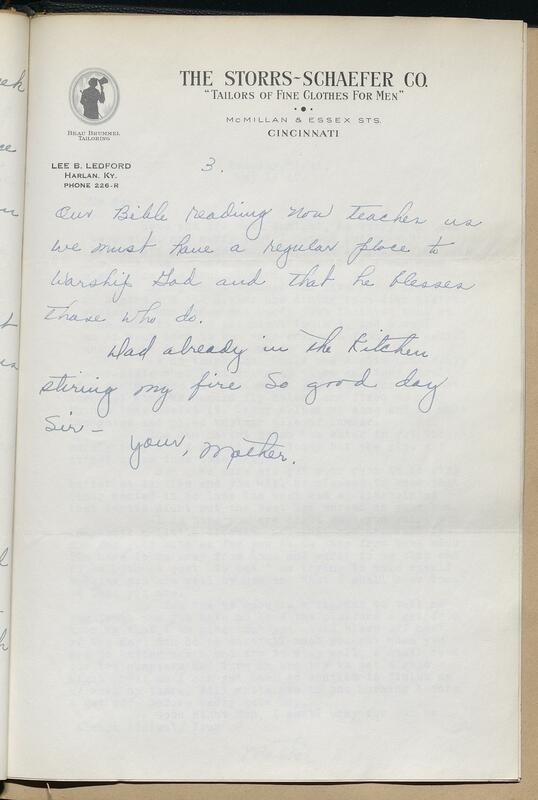 She was a devout member of the Presbyterian Church, attending the Smith Presbyterian Church in Harlan County and the Central Presbyterian Church in New York. 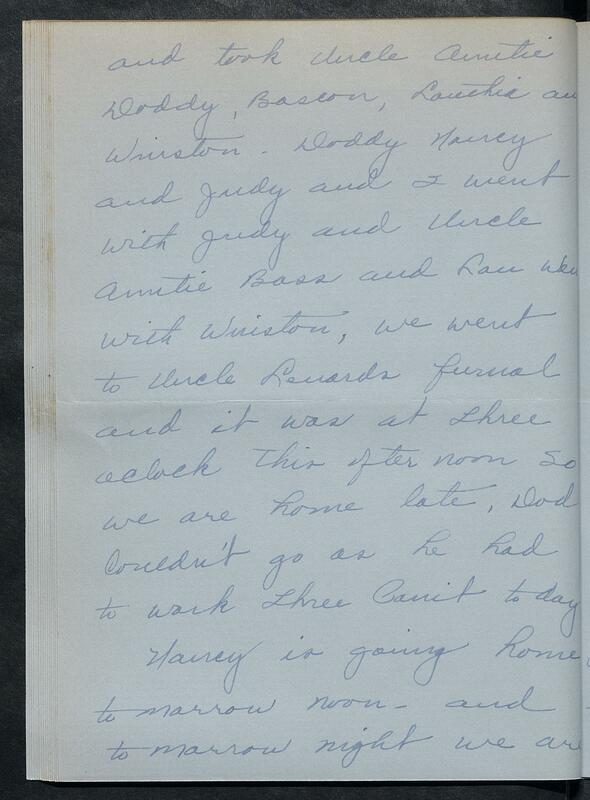 She was buried next to her husband in the Smith Presbyterian Church cemetery. 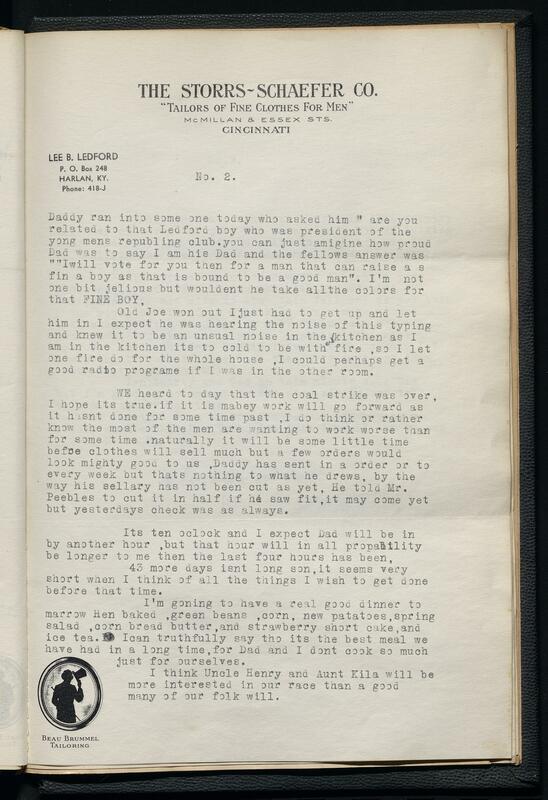 Leander (Lee) Ledford, Sr. (1882-1973), a native of Harlan County, fought in World War I and served as chairman of the Harlan County Agricultural and Soil Conservation Commission for twenty years. 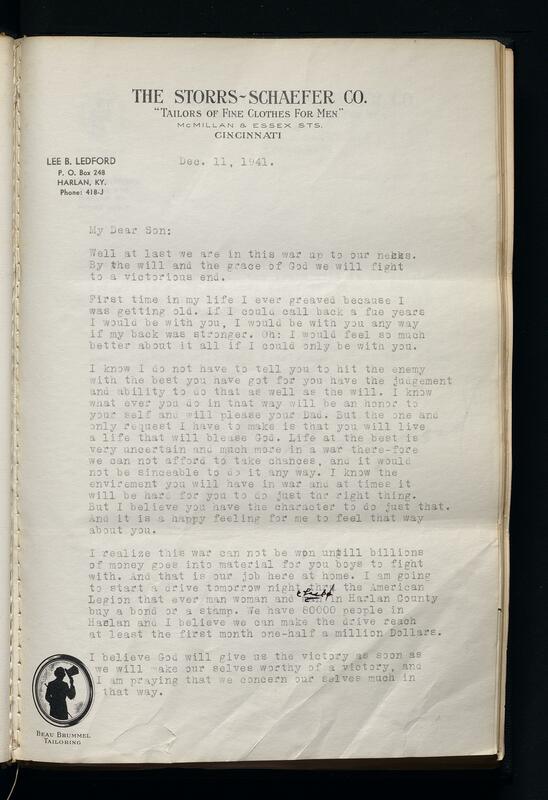 Lee Bradley Ledford, Jr. (1918-1999) was president of his high school class in Harlan County, Kentucky. 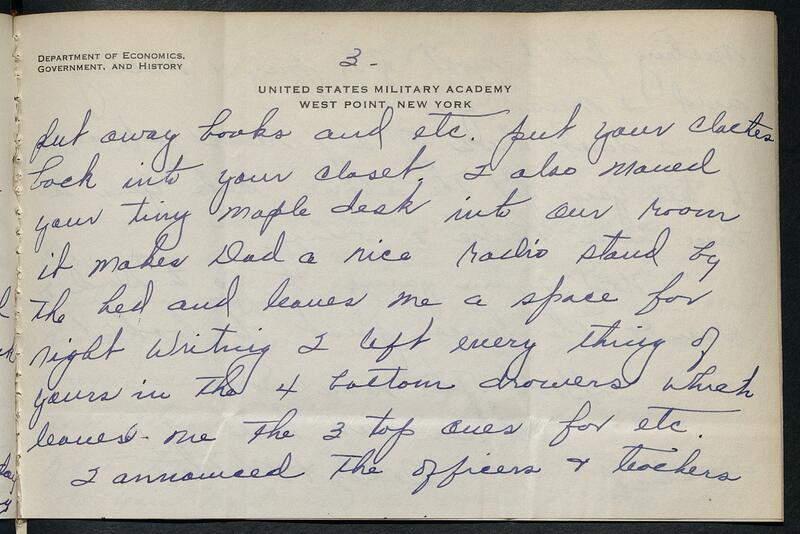 He was appointed to West Point Academy by Senator John M. Robinson in 1936. 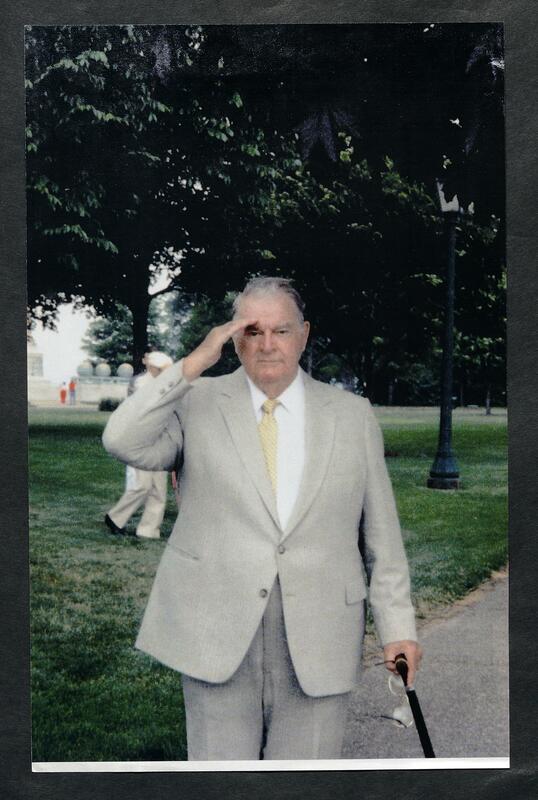 He served a tour in Europe with the 2nd Armored Division during World War II before earning a law degree from Harvard in 1950. 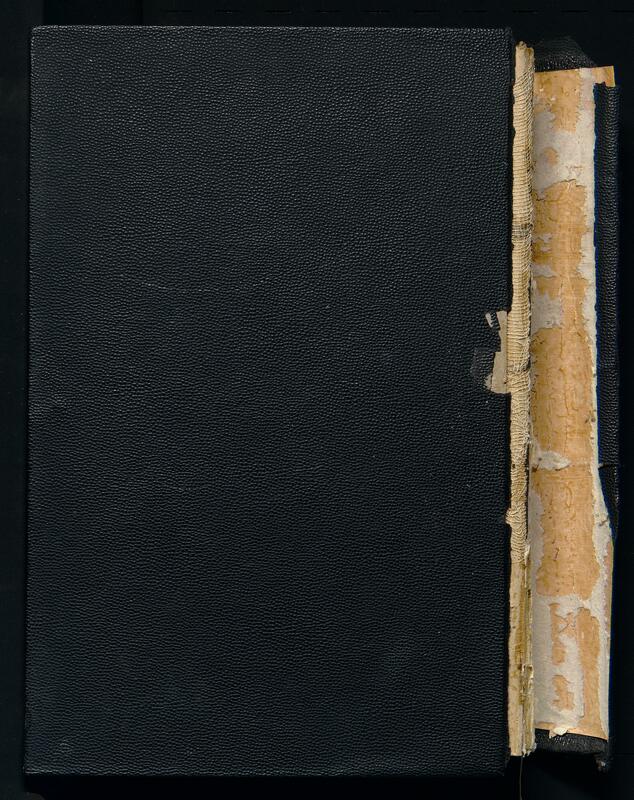 He worked as an assistant Staff Judge Advocate in Korea from 1953-1955 and retired from the military in 1961. He then moved to New York City where he worked as Legal Counsel or General Counsel for several companies. 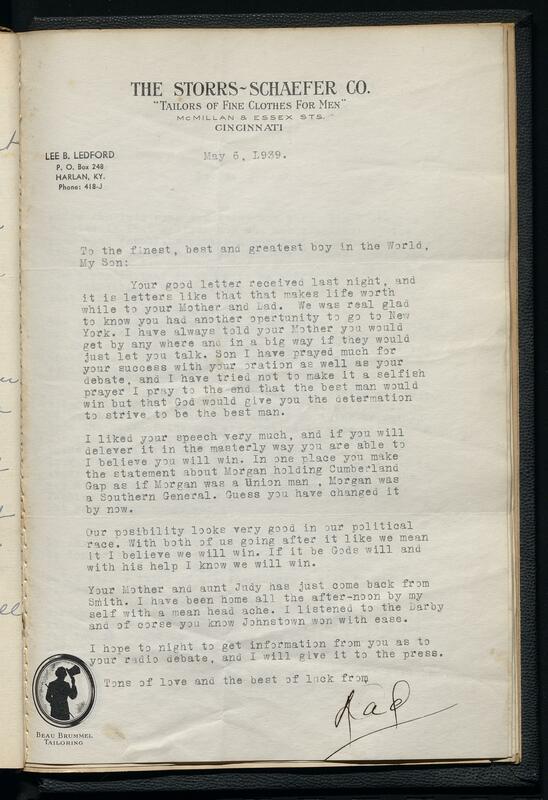 Virgil Mac Ledford (1927-1989) was World War II veteran and the foster child of Lee and Mary Ledford. 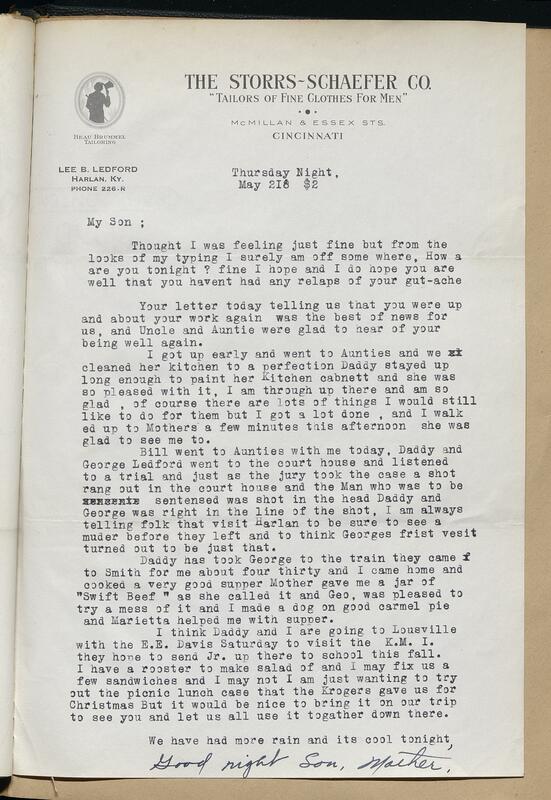 The Madge E. Smith collection of Mary Ledford letters (dated 1942-1973; 3.5 cubic feet; 10 boxes) consists of 18 bound volumes of letters from Mary Ledford to her son, Lee B. Ledford, Jr. discussing her daily life in Harlan County, Kentucky. 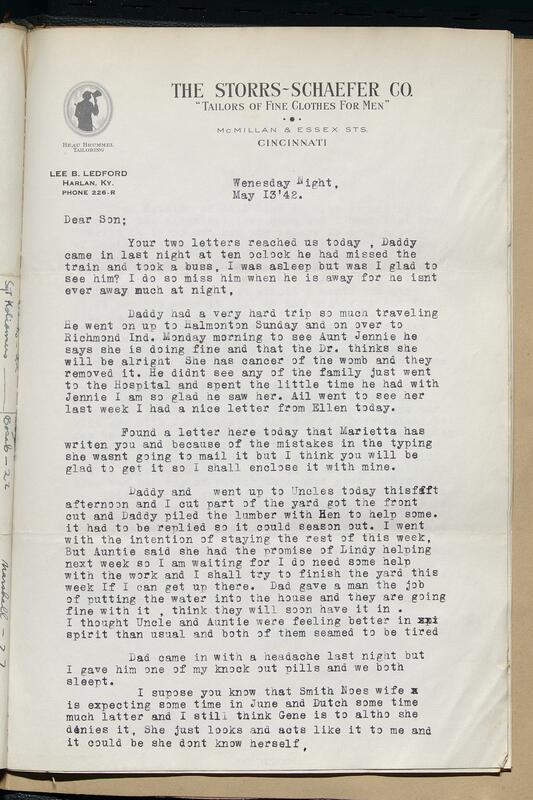 The handwritten and typed letters were sent almost every day that Lee, Jr. was away from their family home in Harlan, Kentucky. 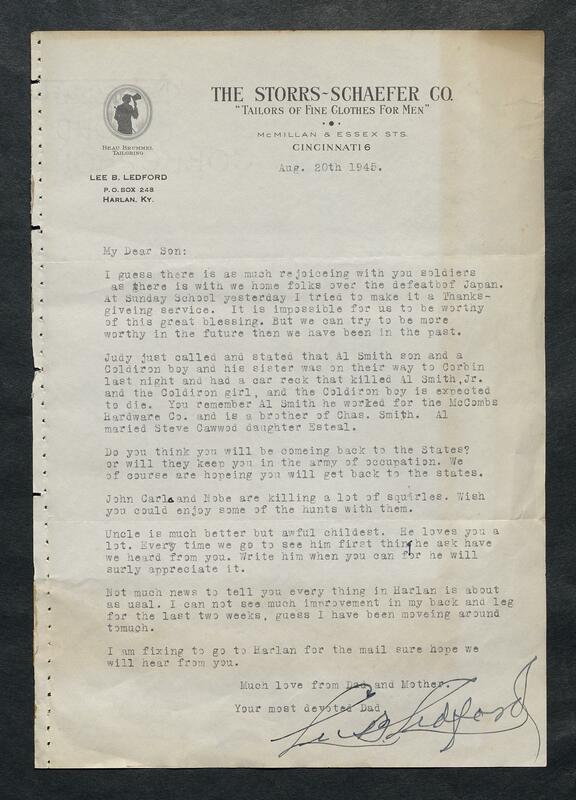 The letters stop with the death of his father, Lee B. Ledford, Sr., after which Lee and his mother lived together in Kentucky and New York City until her death in 1988. The volumes of letters are mostly penned by Mary Ledford, though Lee Ledford Sr. occasionally sent letters. 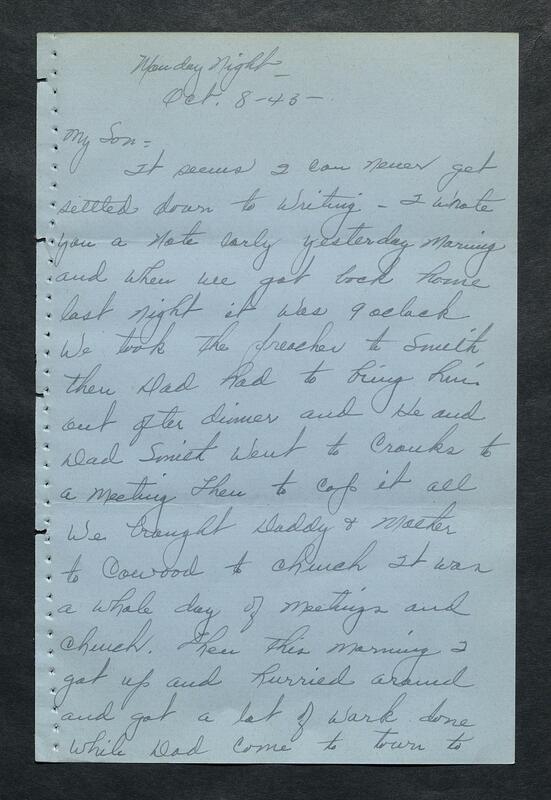 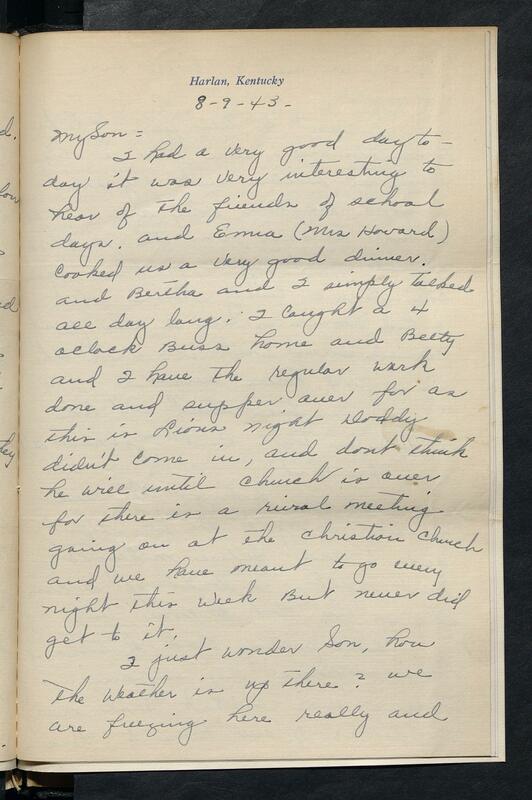 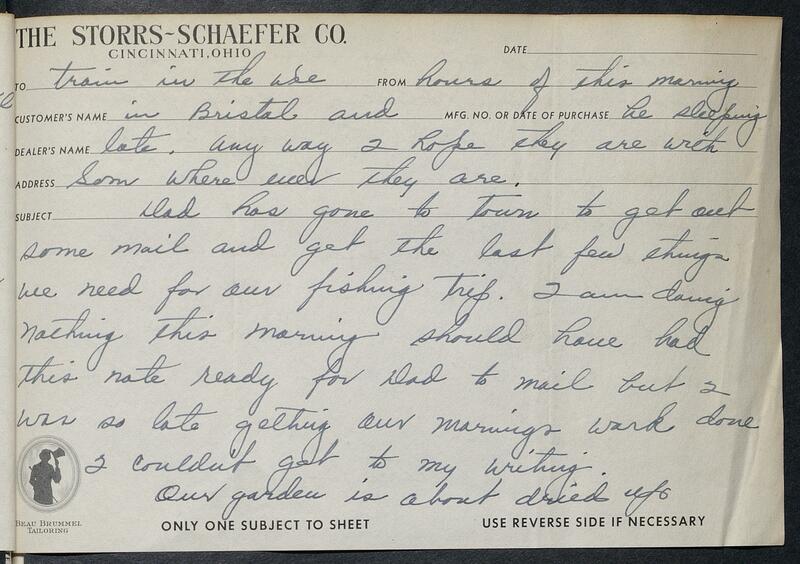 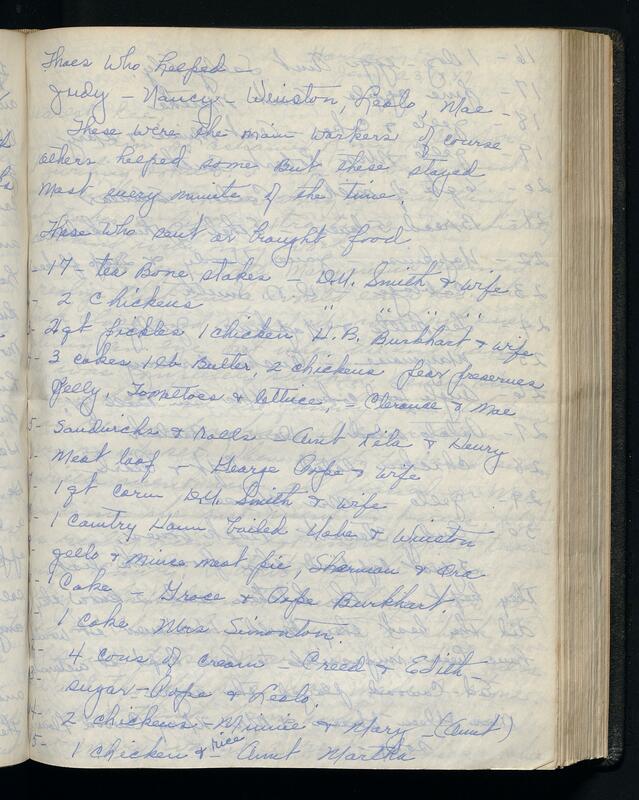 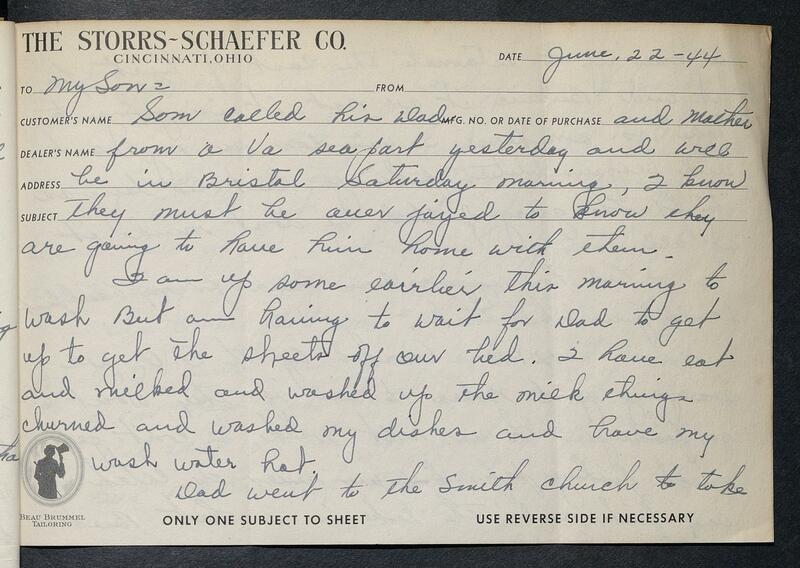 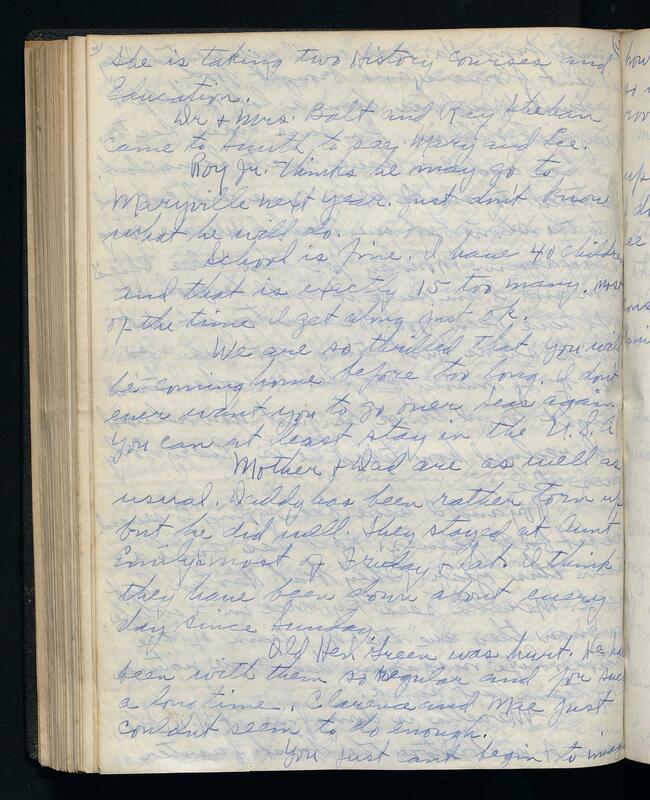 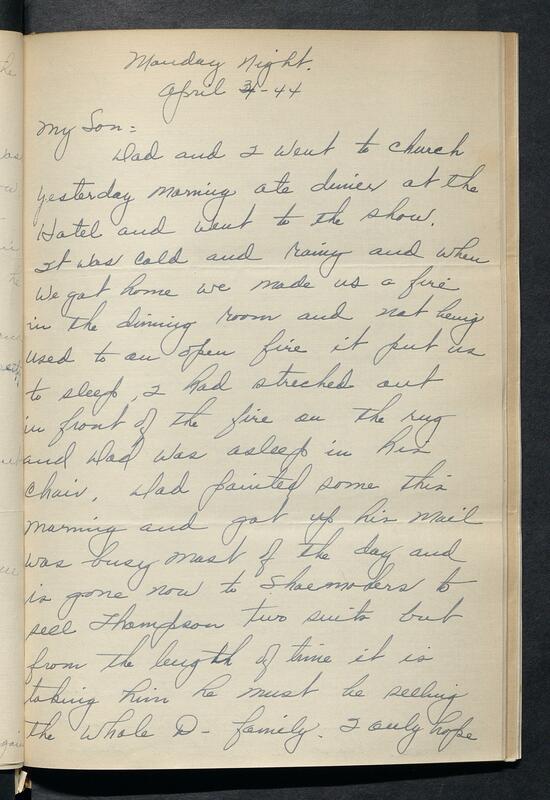 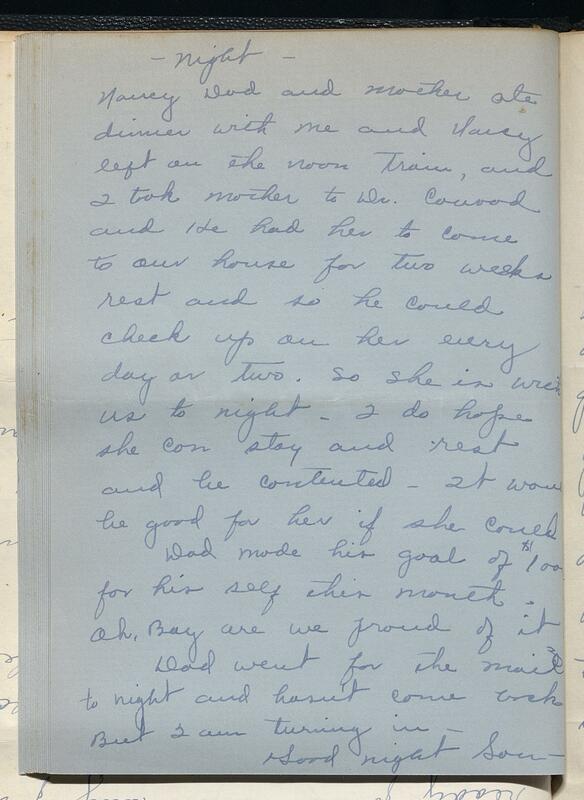 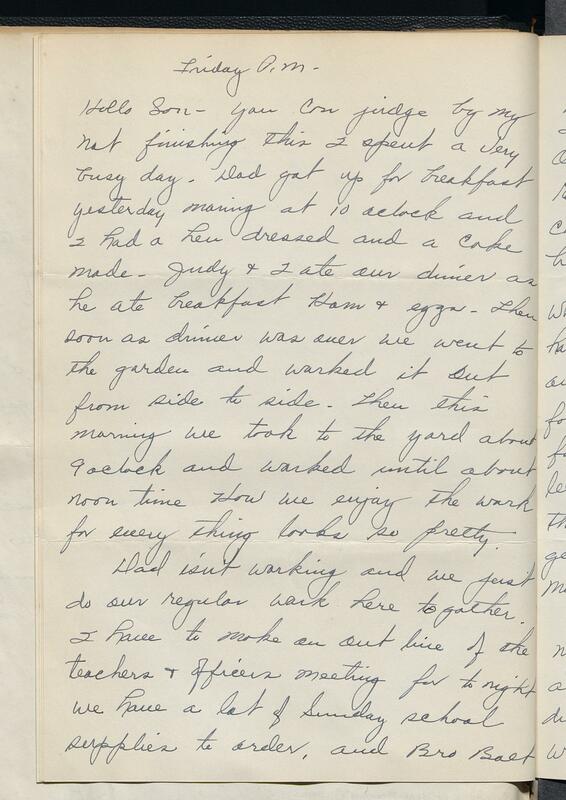 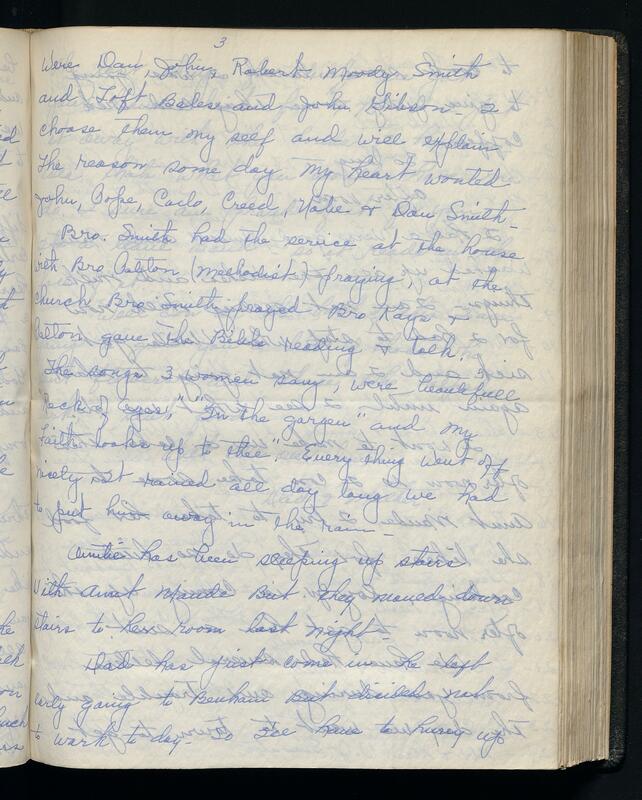 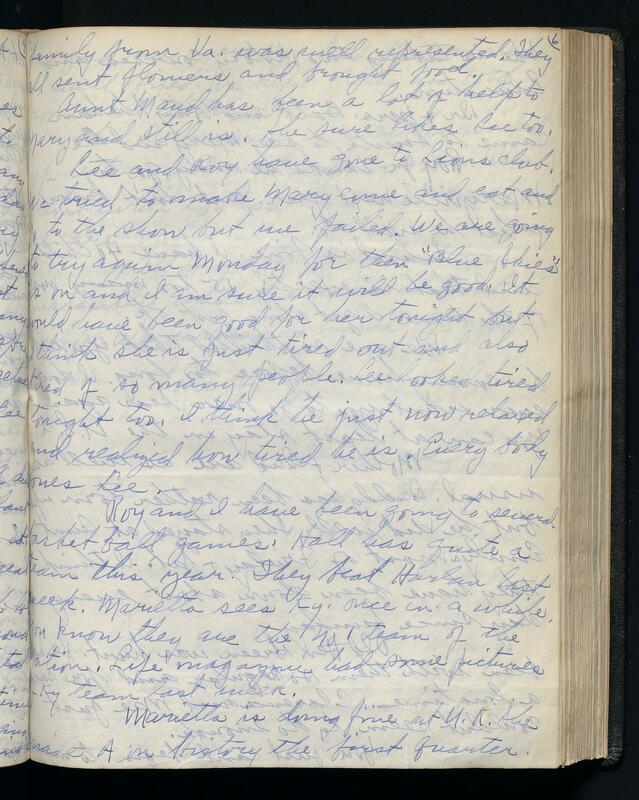 Her letters consisted of day-to-day accounts of her life as a housewife. 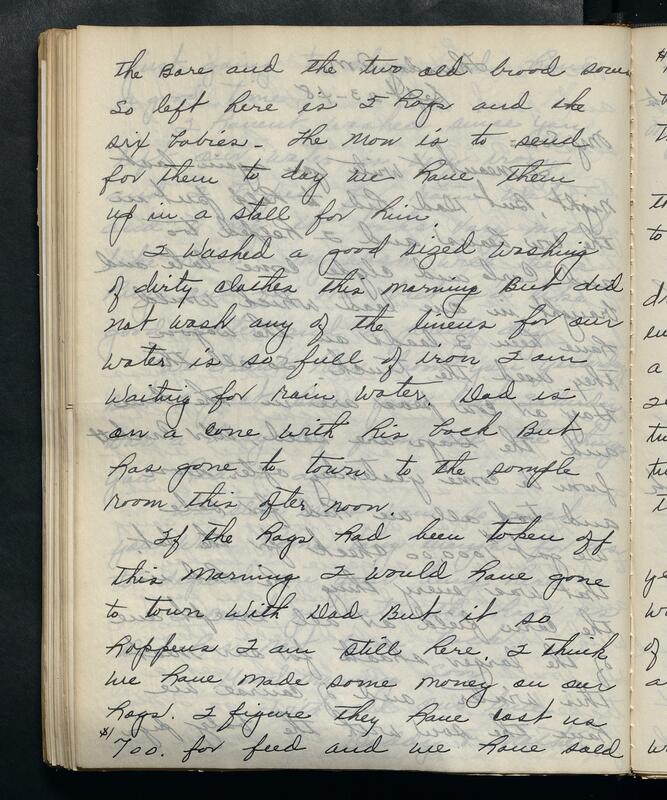 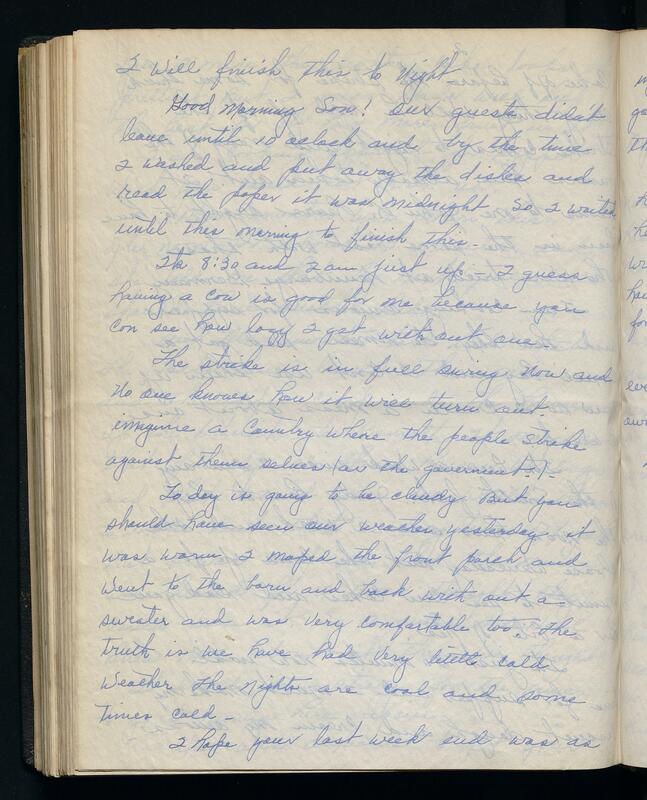 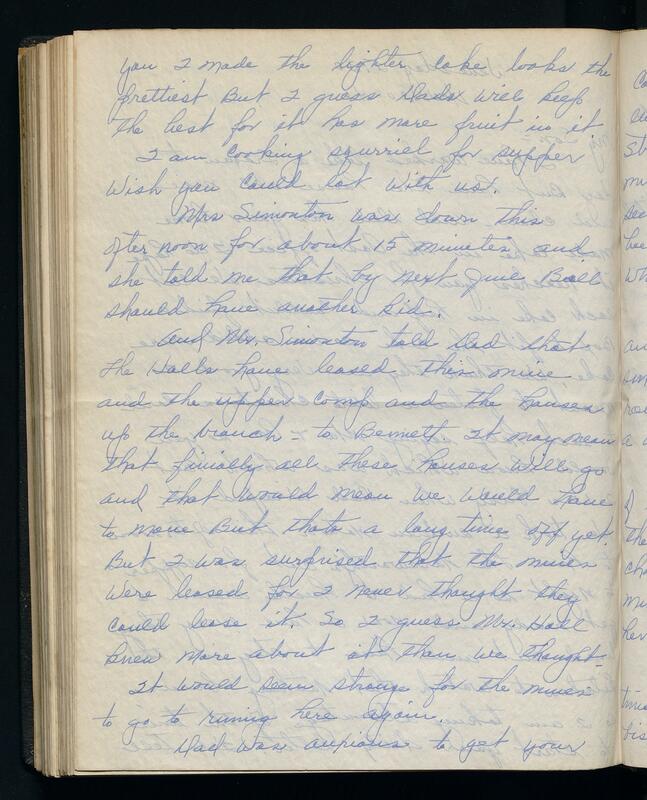 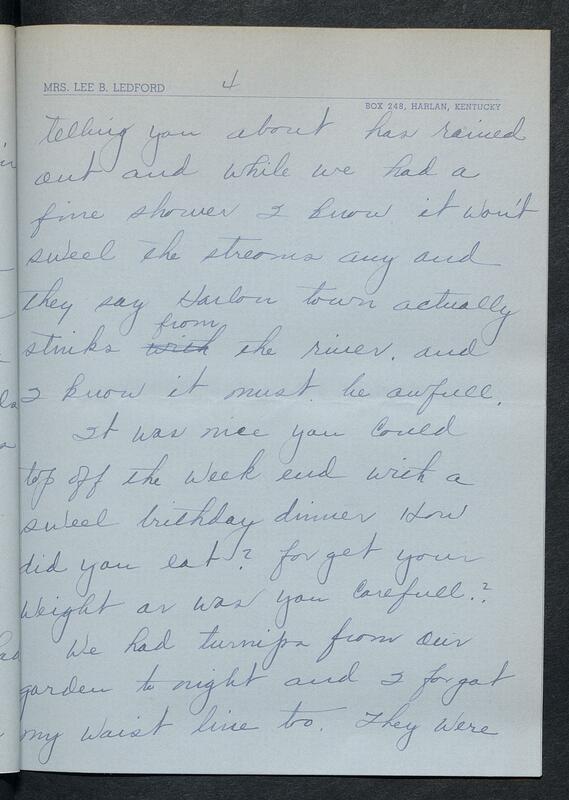 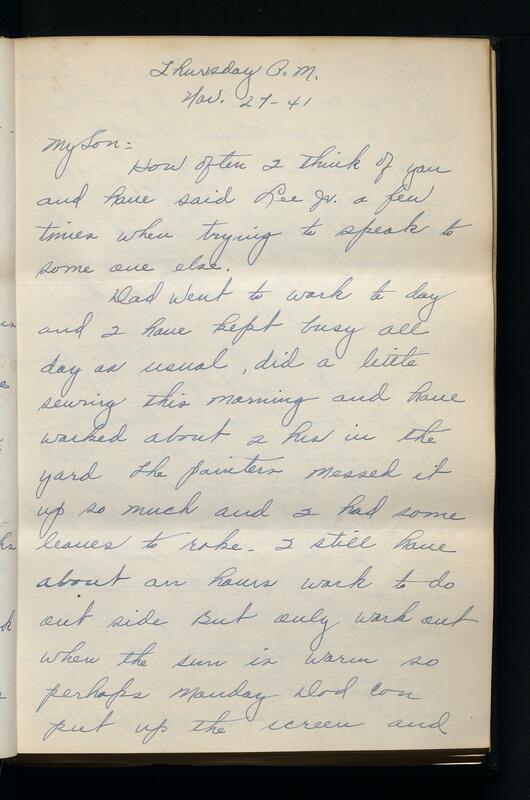 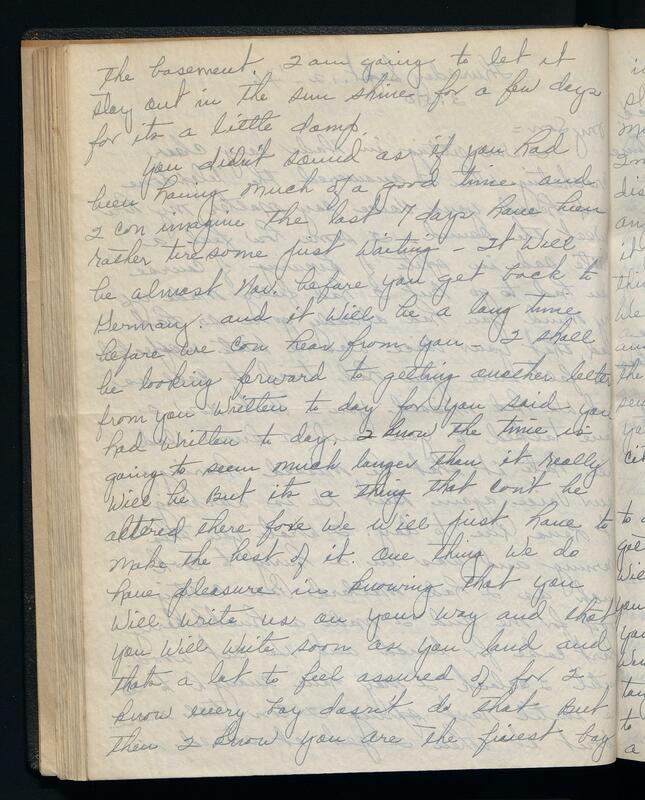 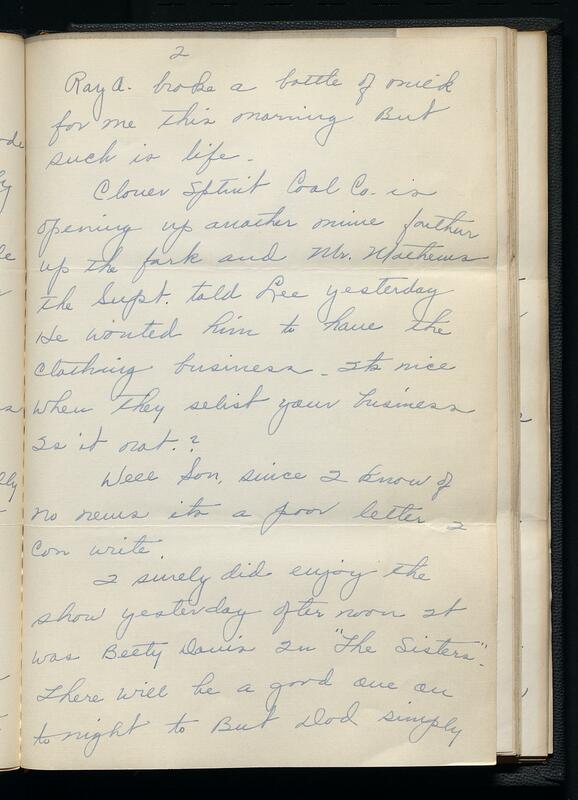 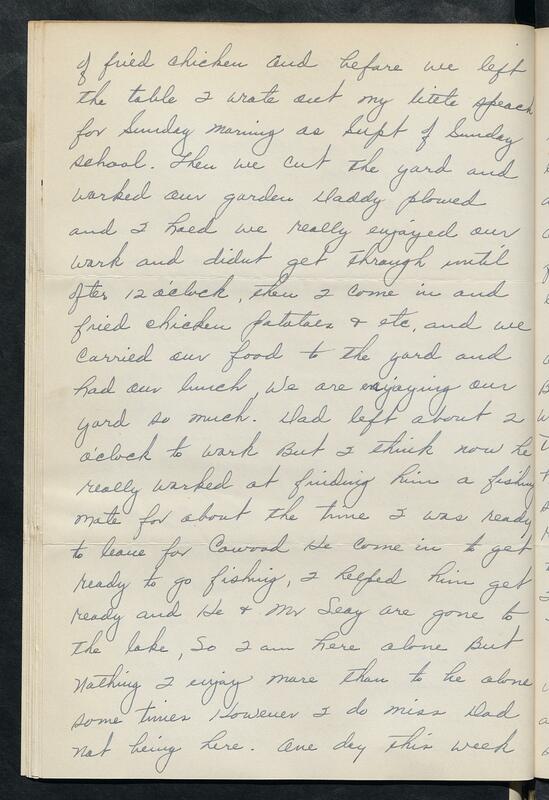 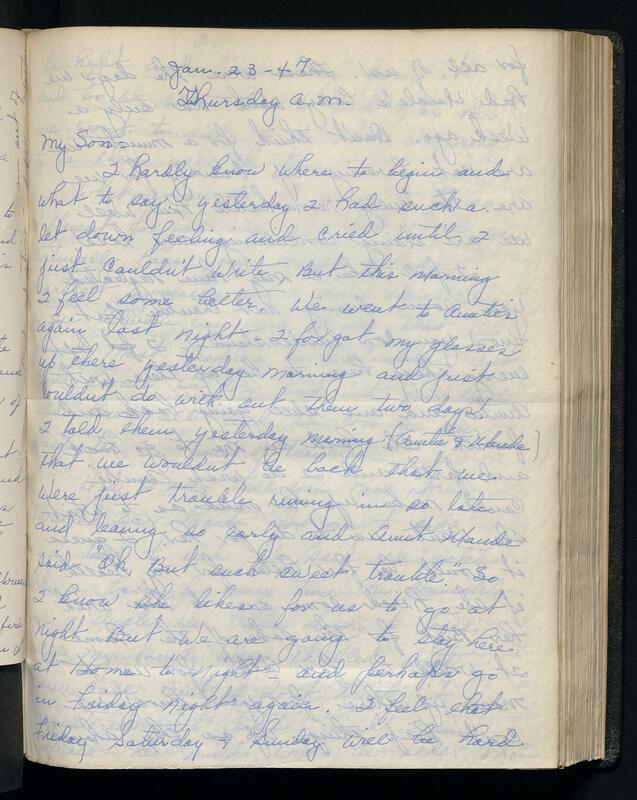 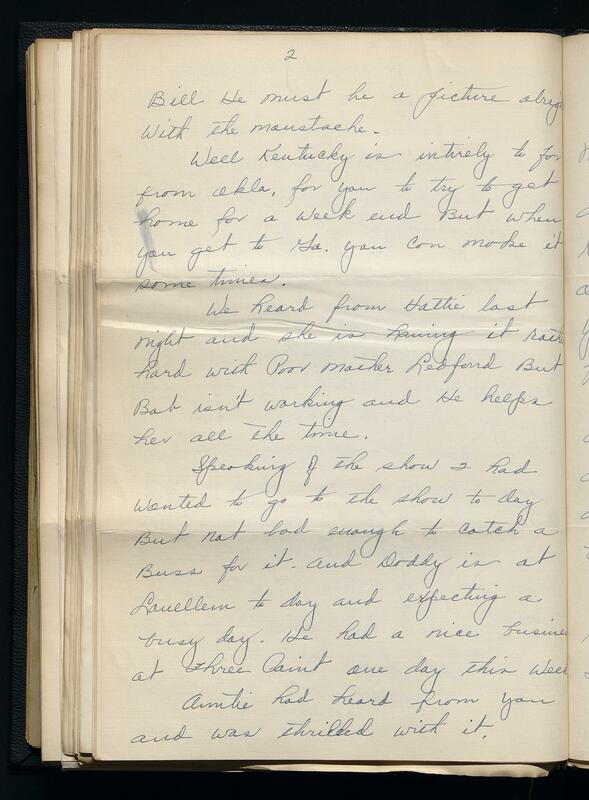 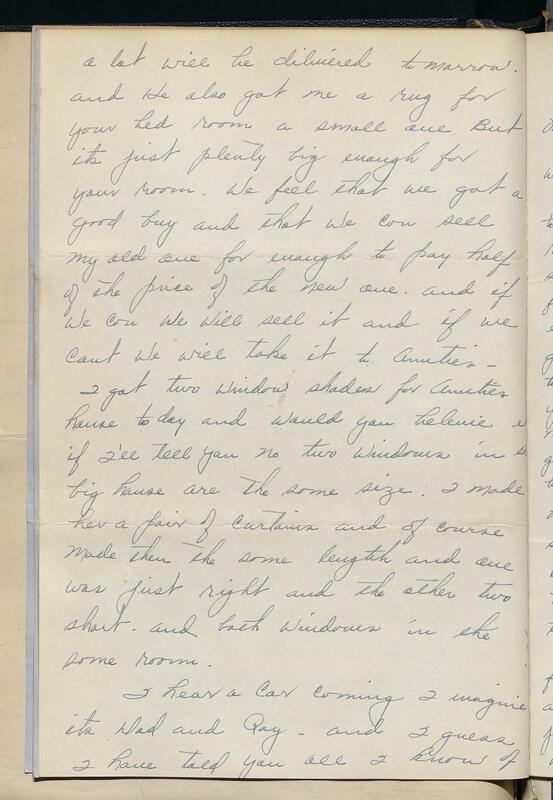 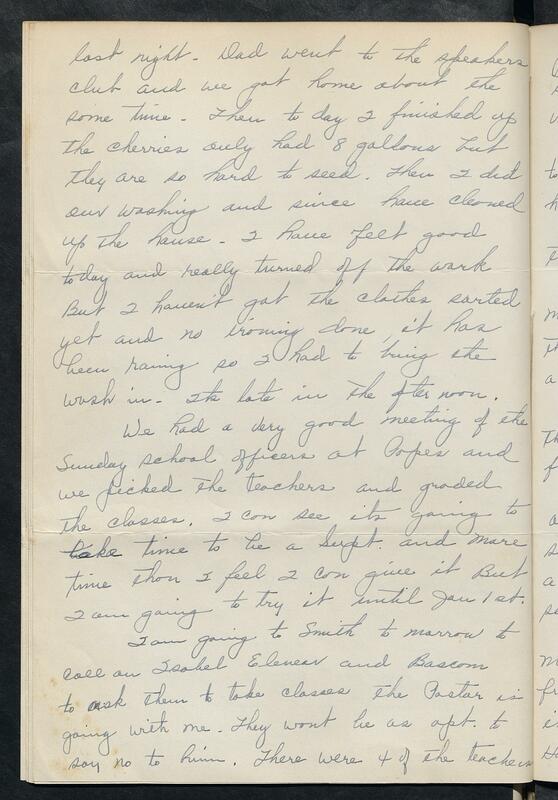 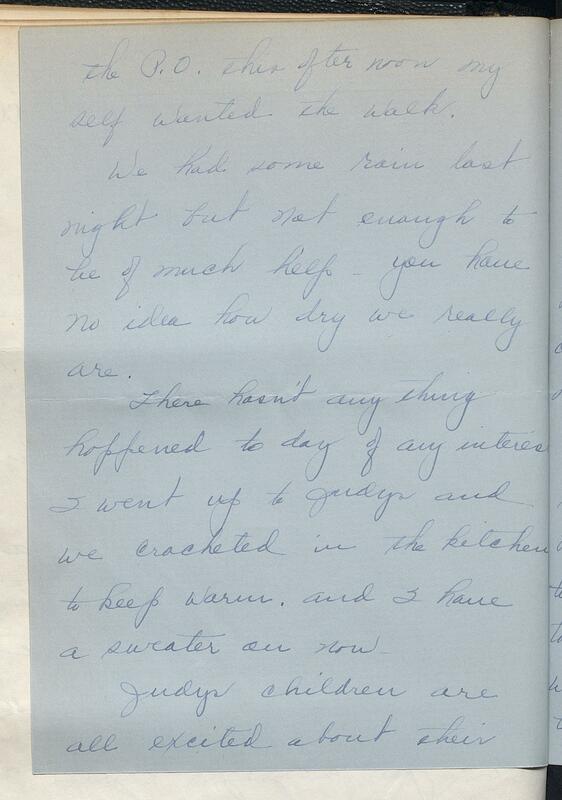 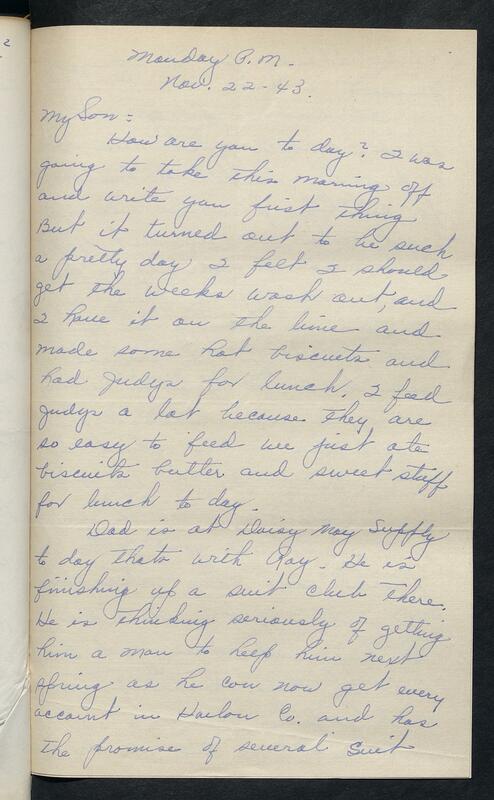 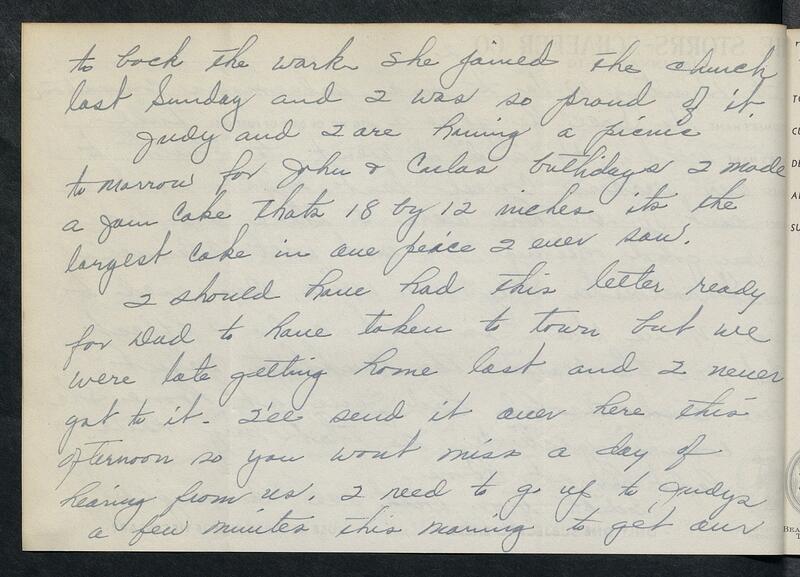 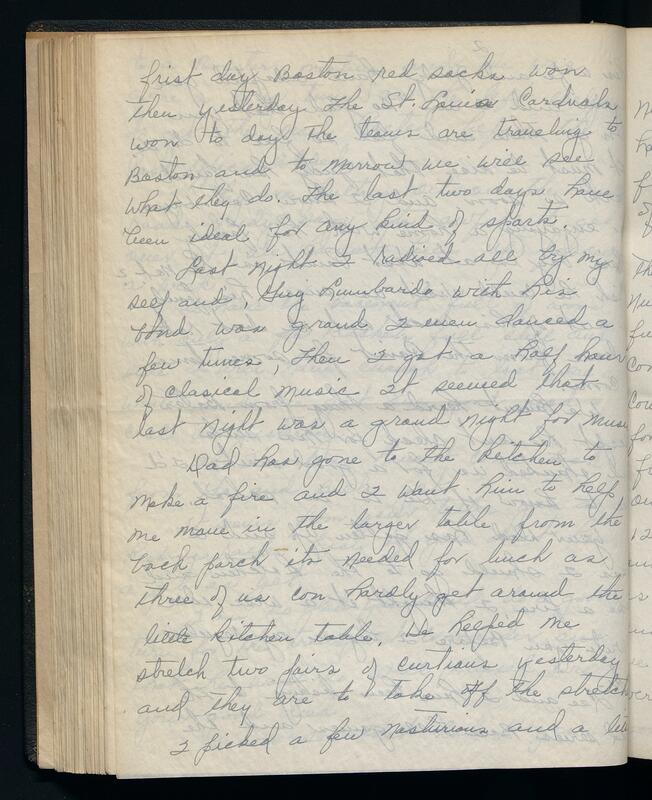 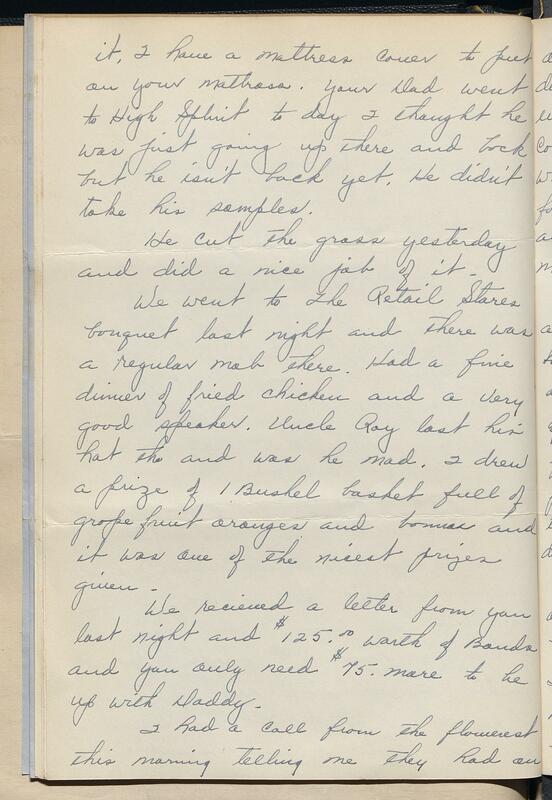 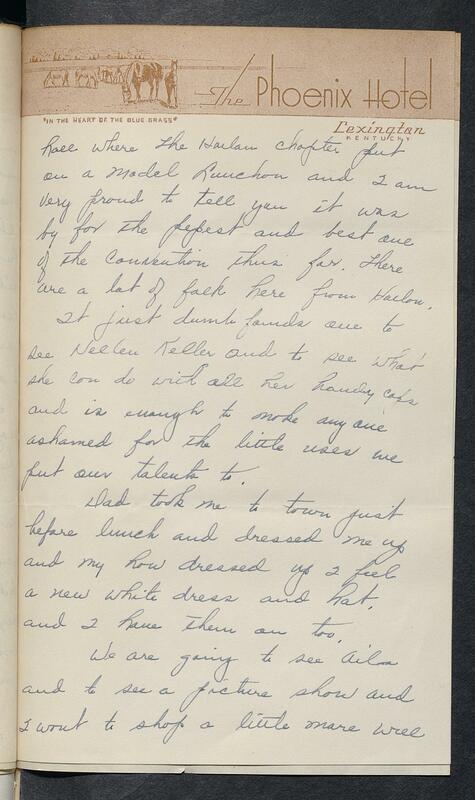 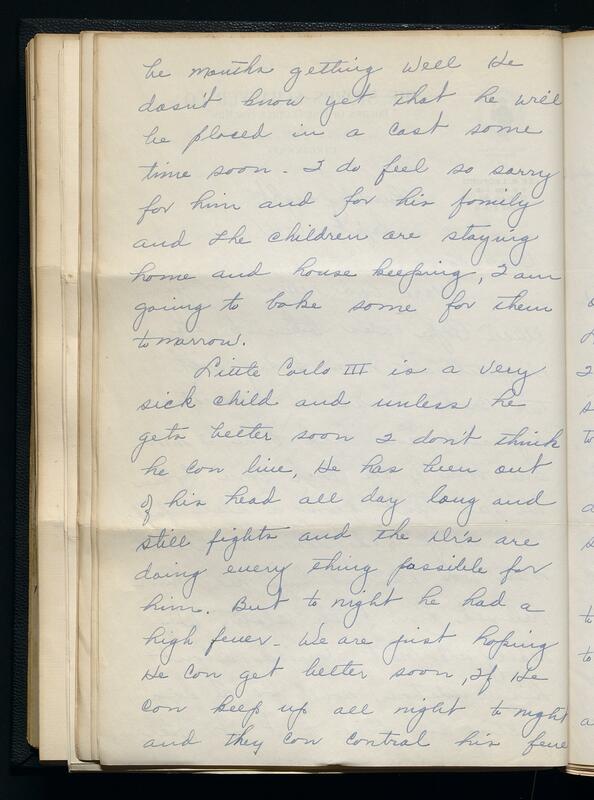 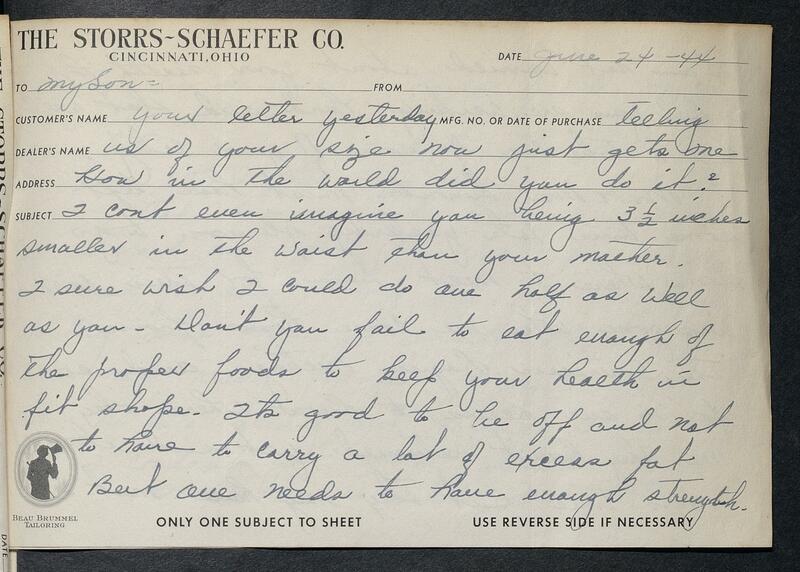 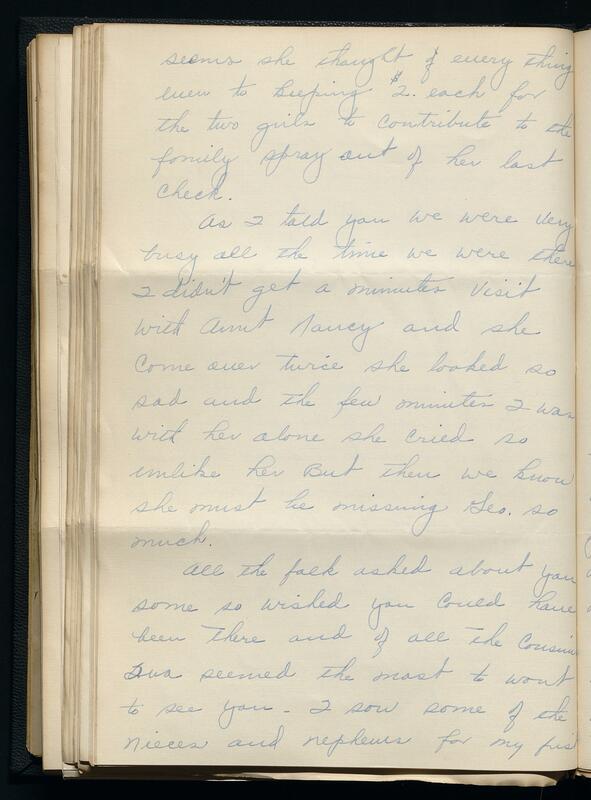 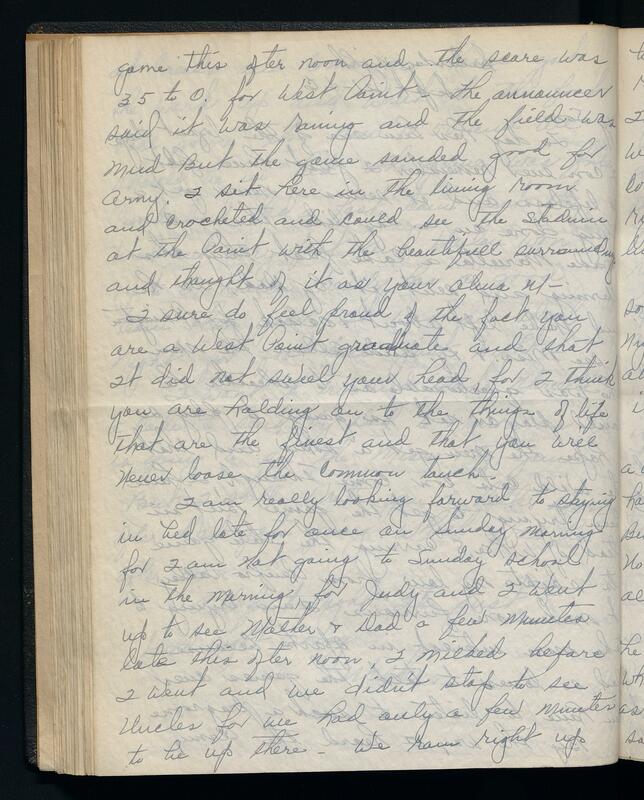 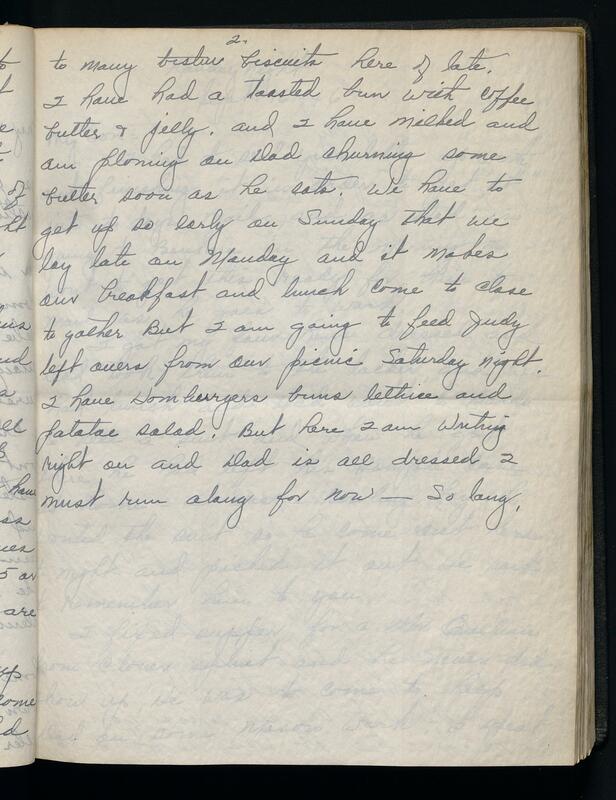 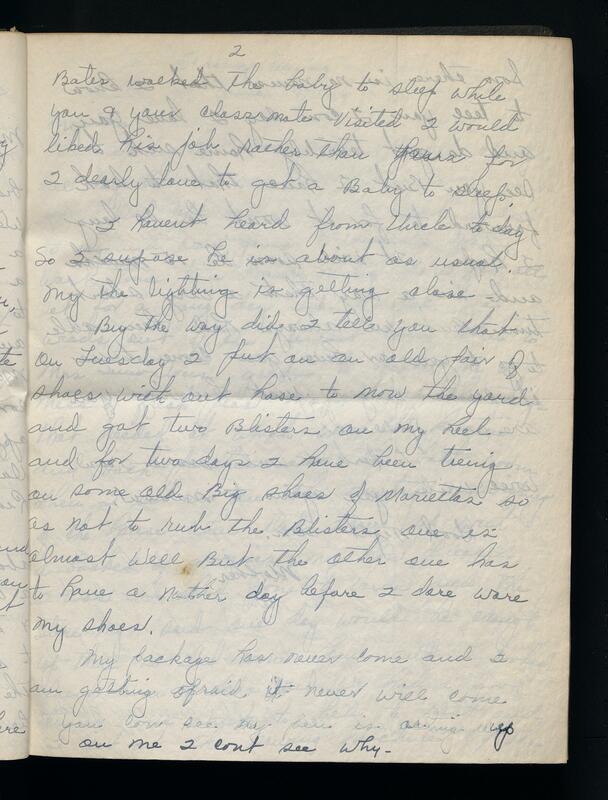 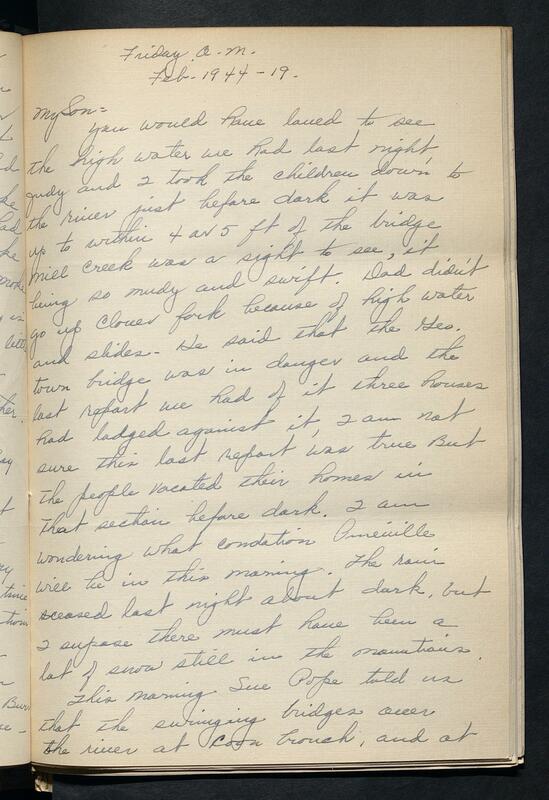 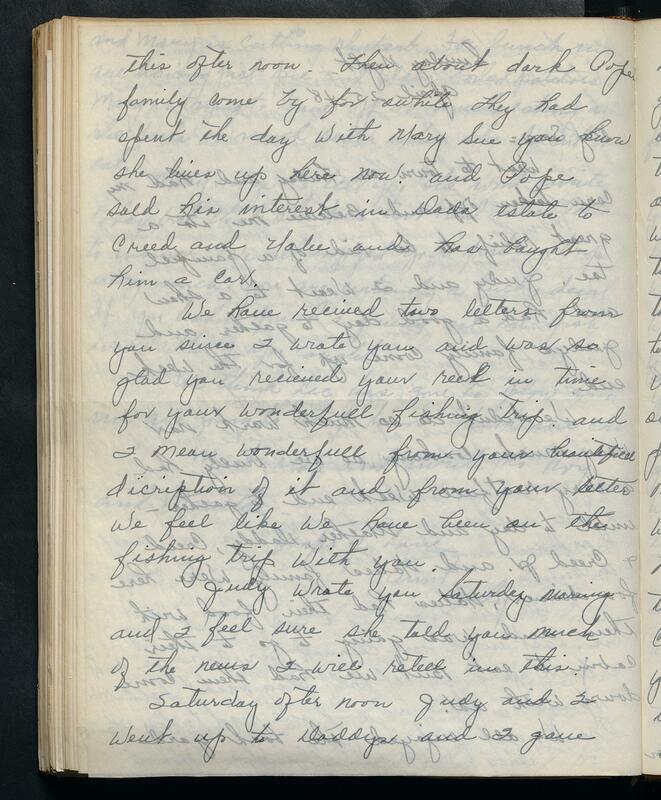 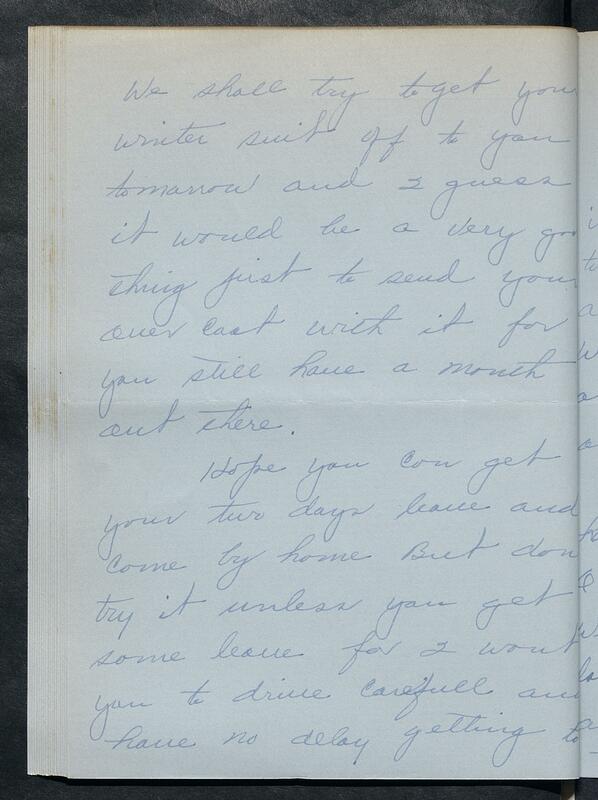 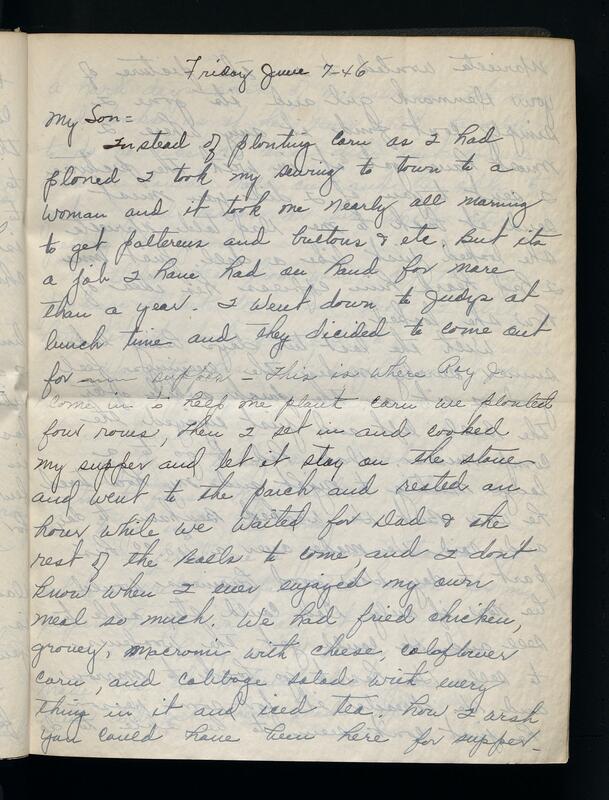 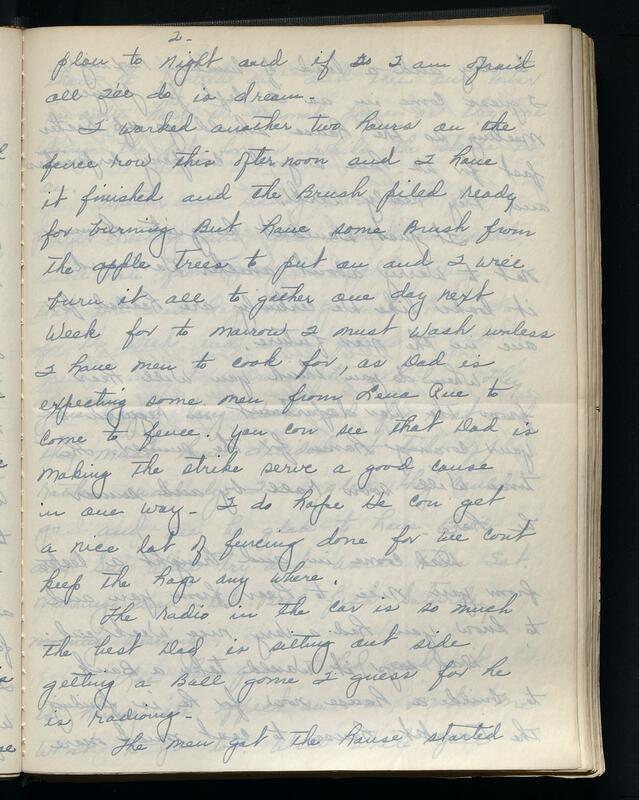 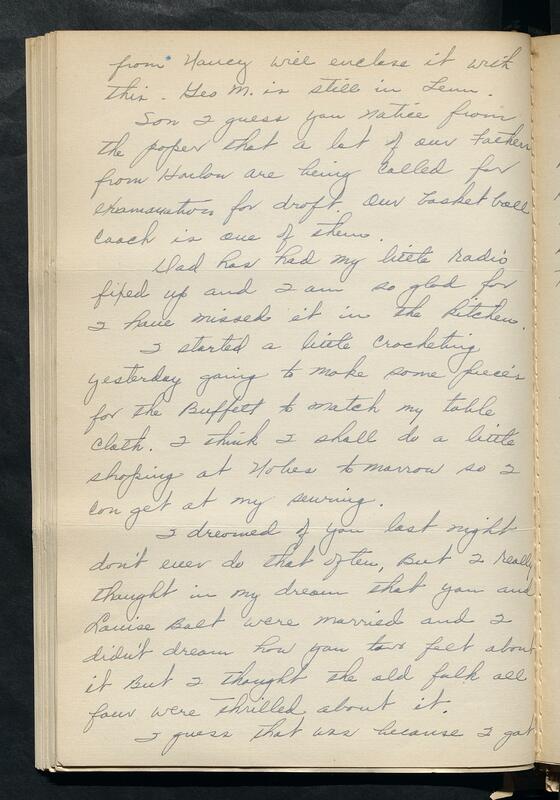 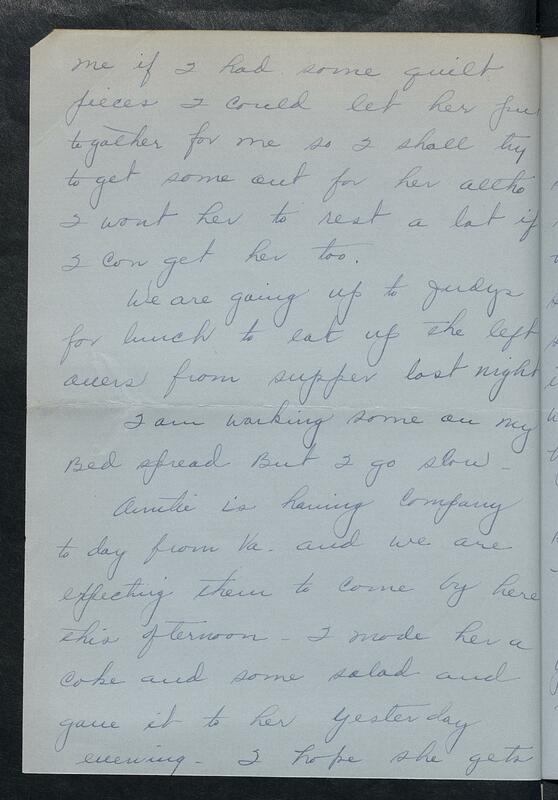 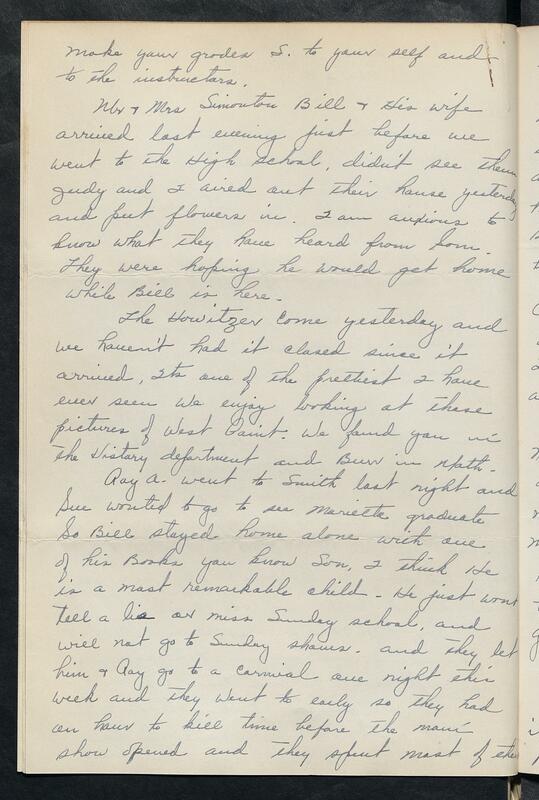 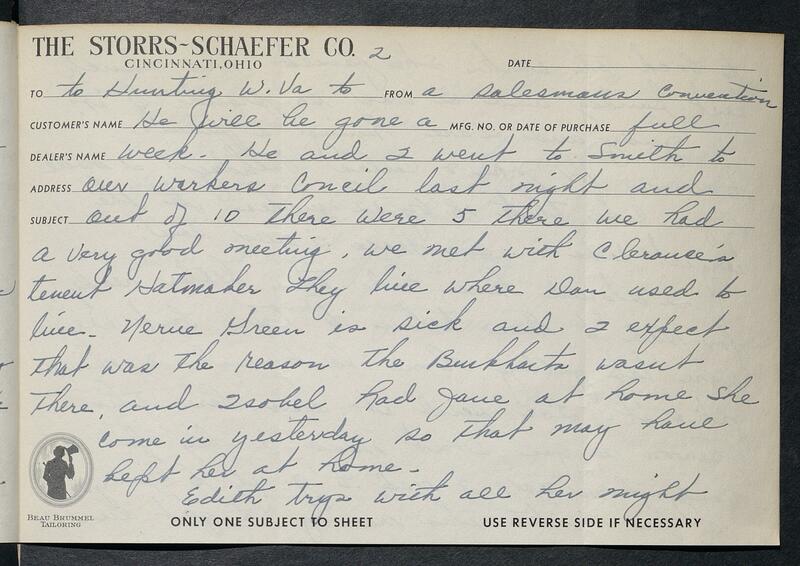 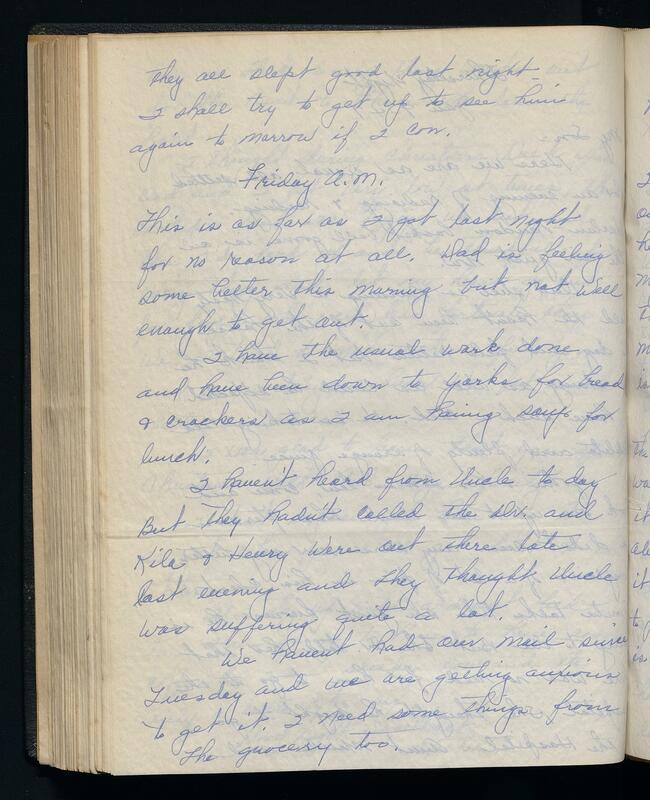 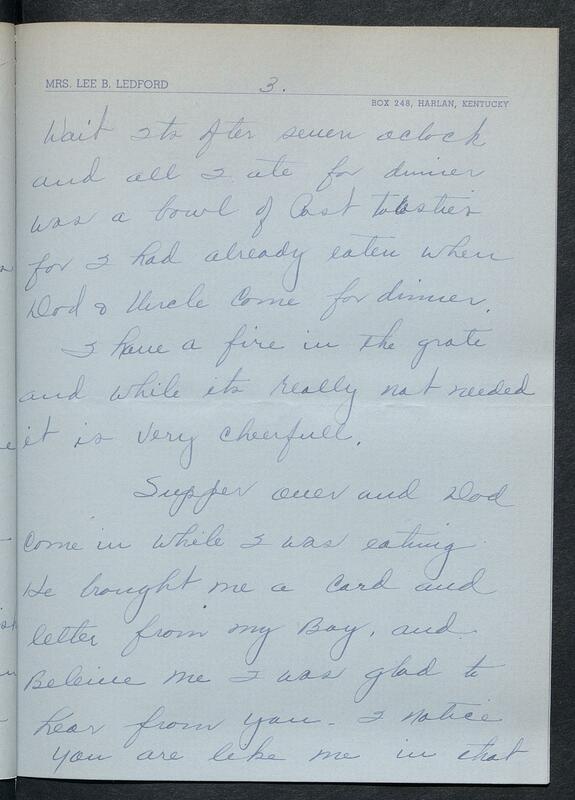 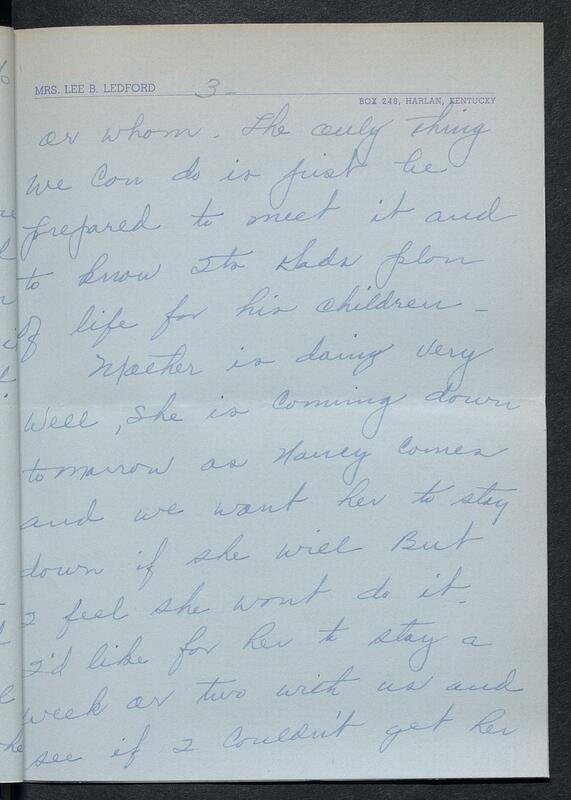 She discusses chores, the weather, the state of the family farm, the meals they ate that day, people she has visited or who visited her, and their health. 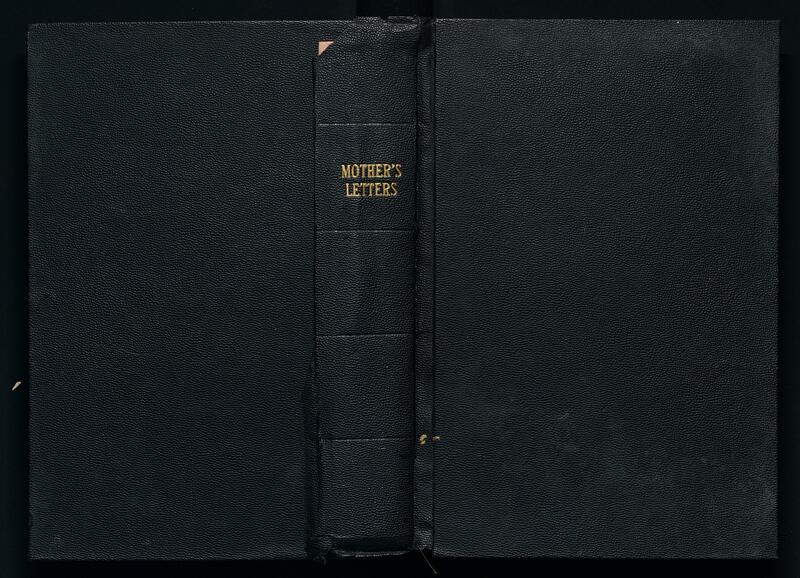 Because her letters focus on day-to-day life, she rarely focuses on big news from outside the household. 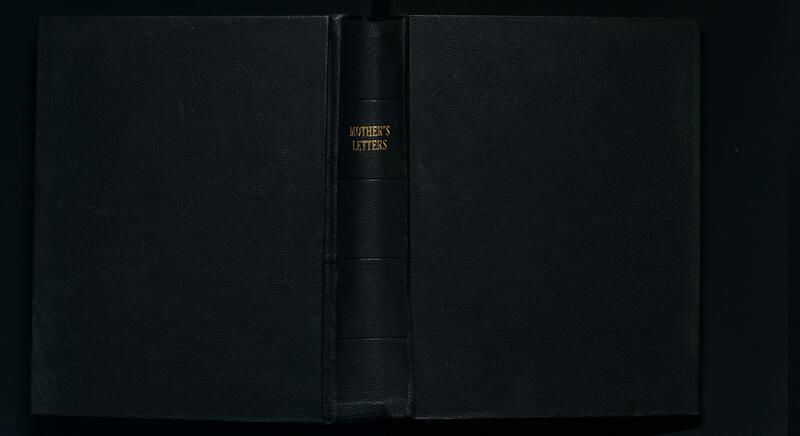 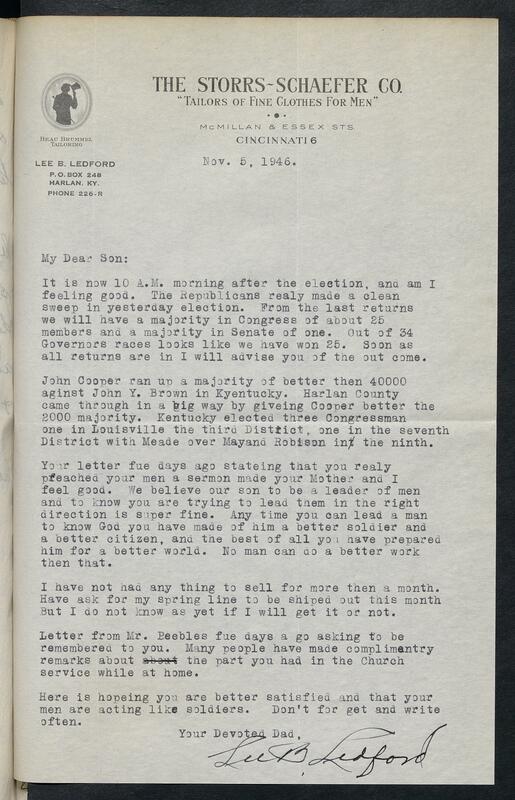 The Lee, Sr.'s letters addresses local news concerning business, politics, deaths, and, births. 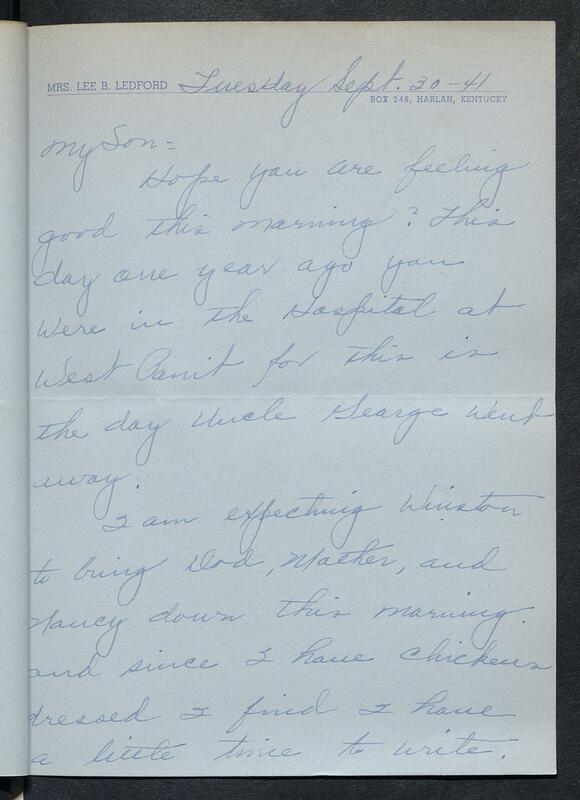 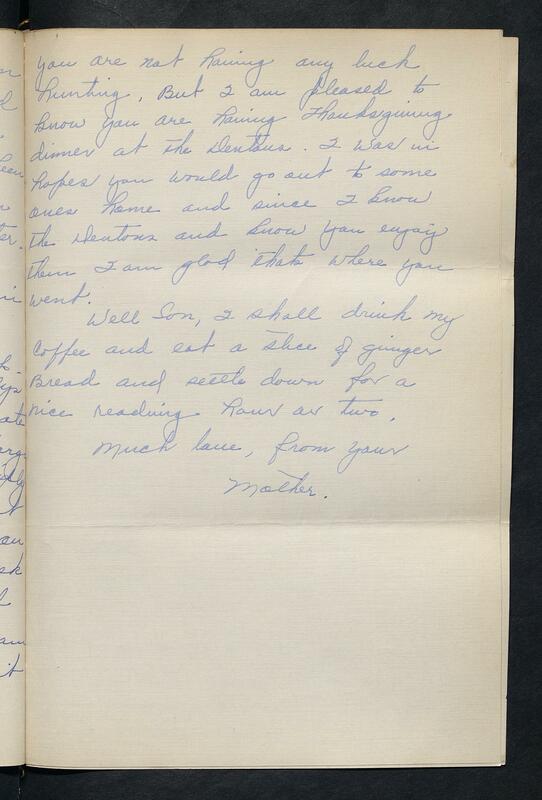 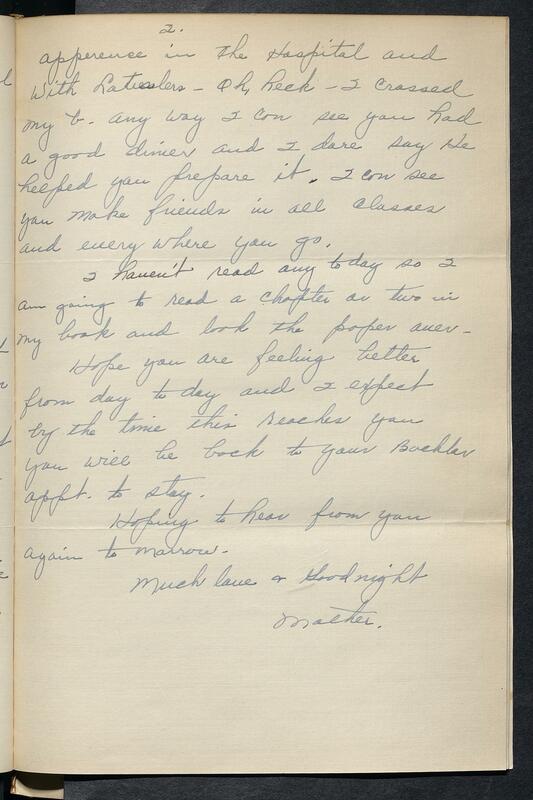 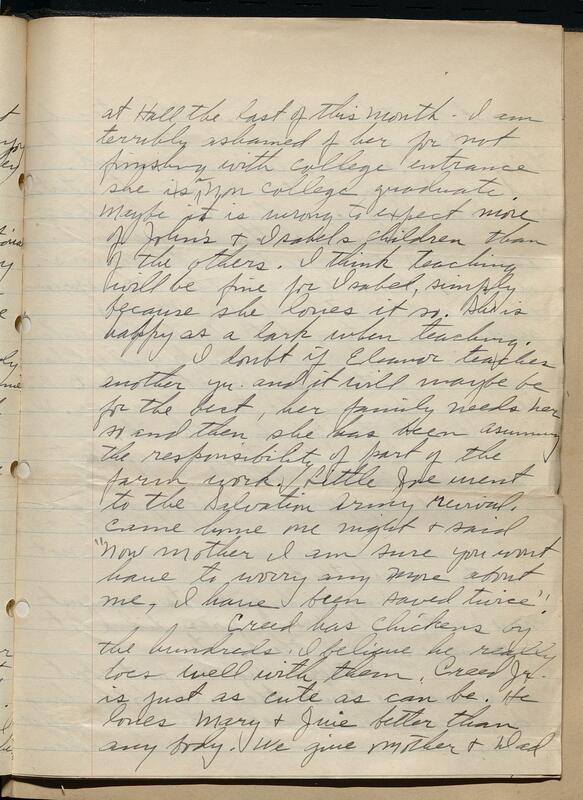 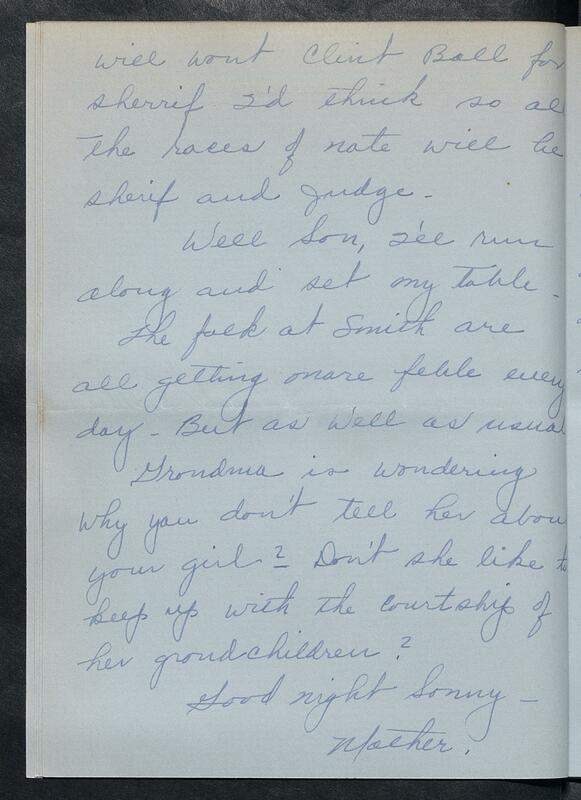 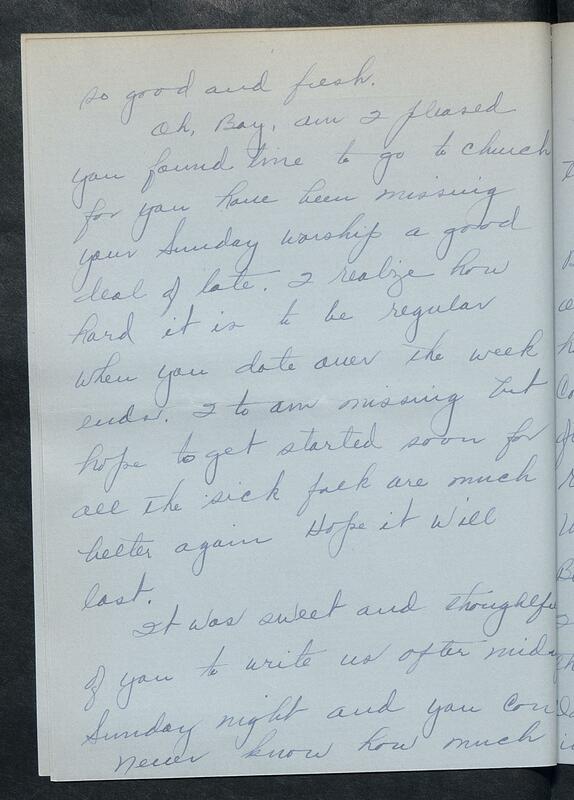 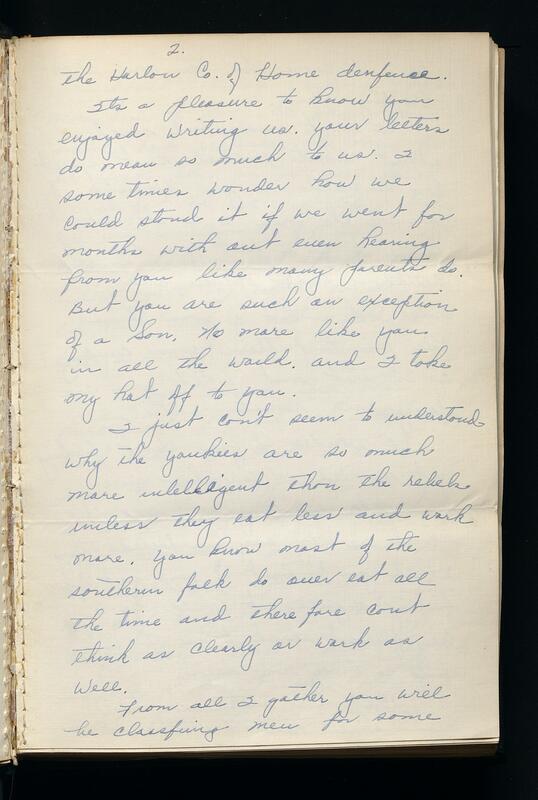 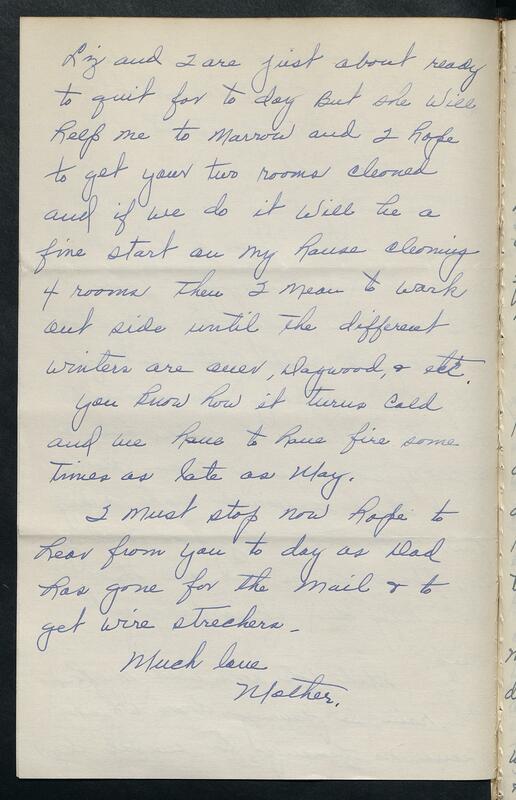 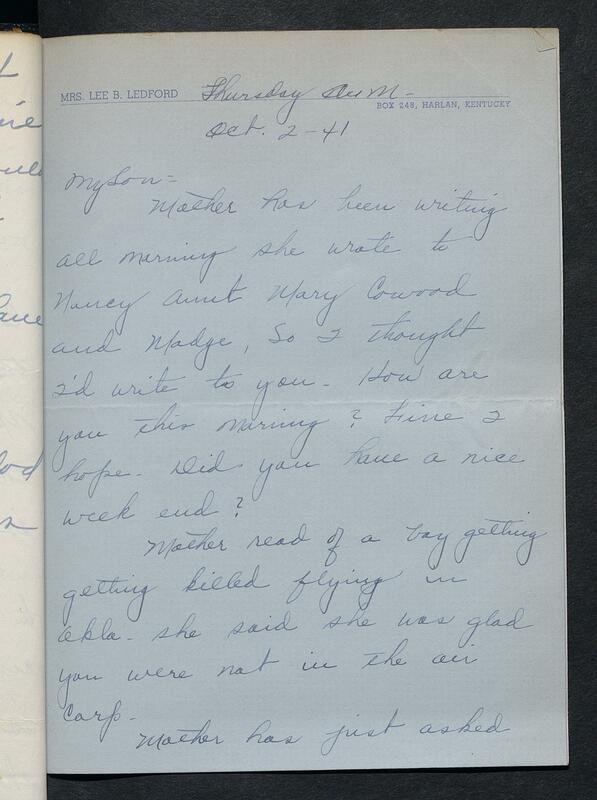 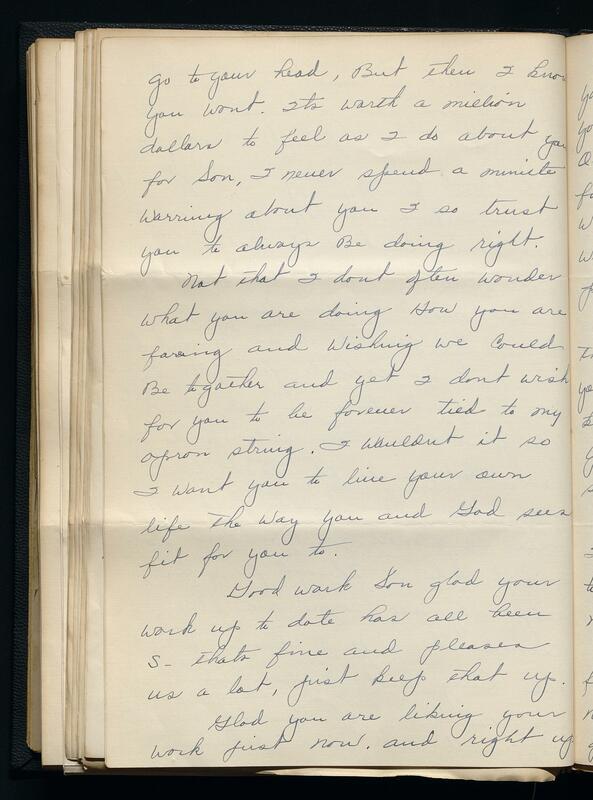 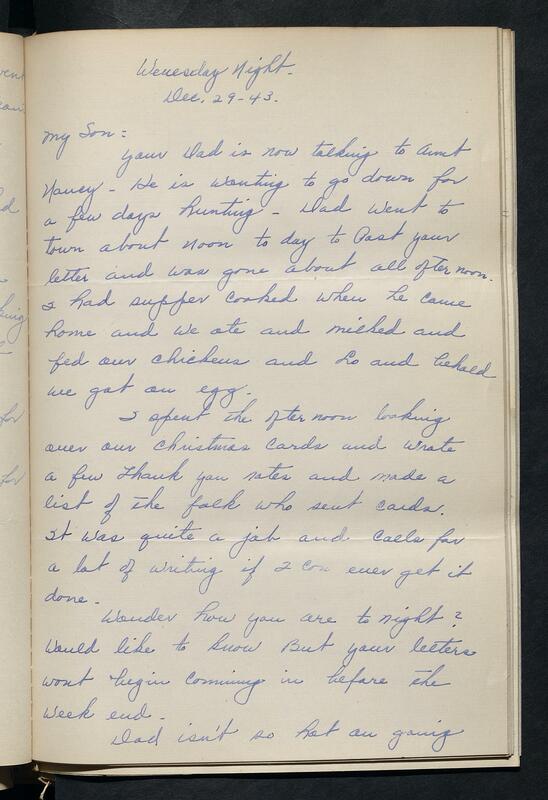 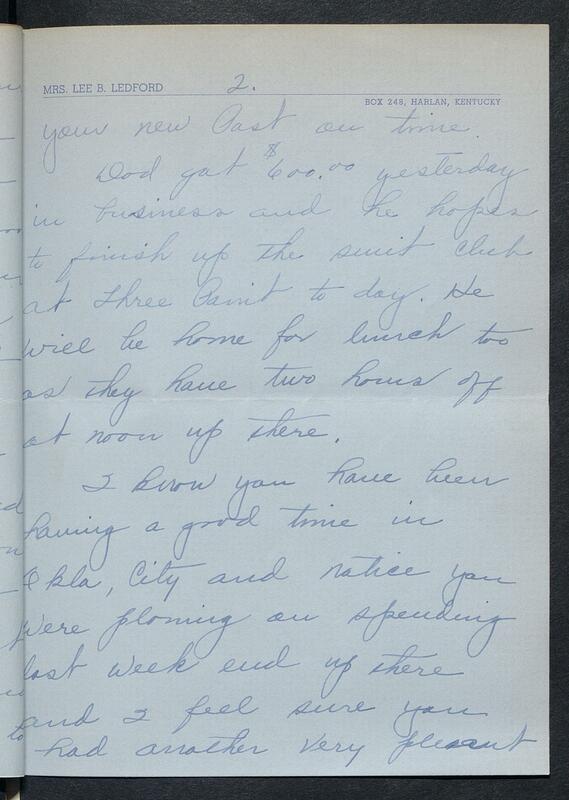 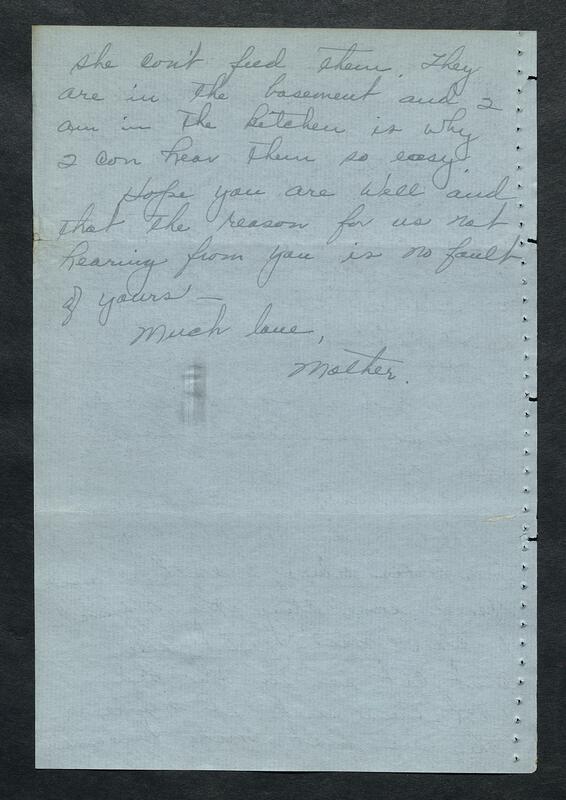 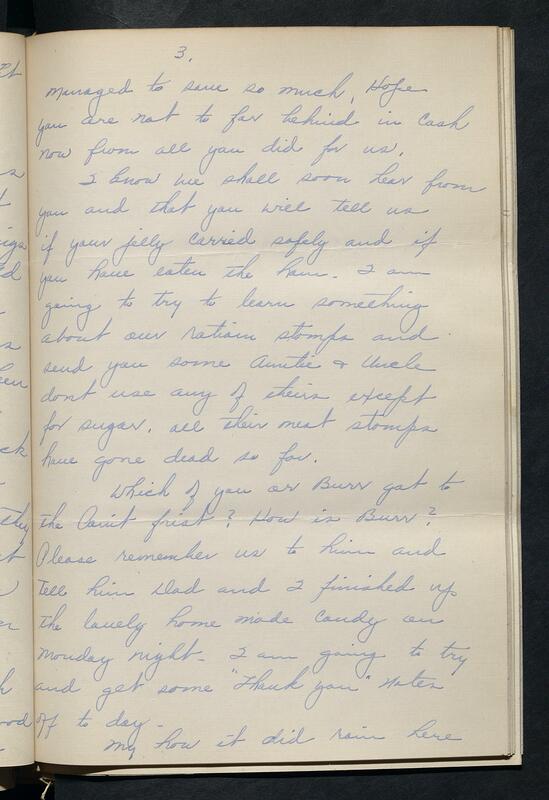 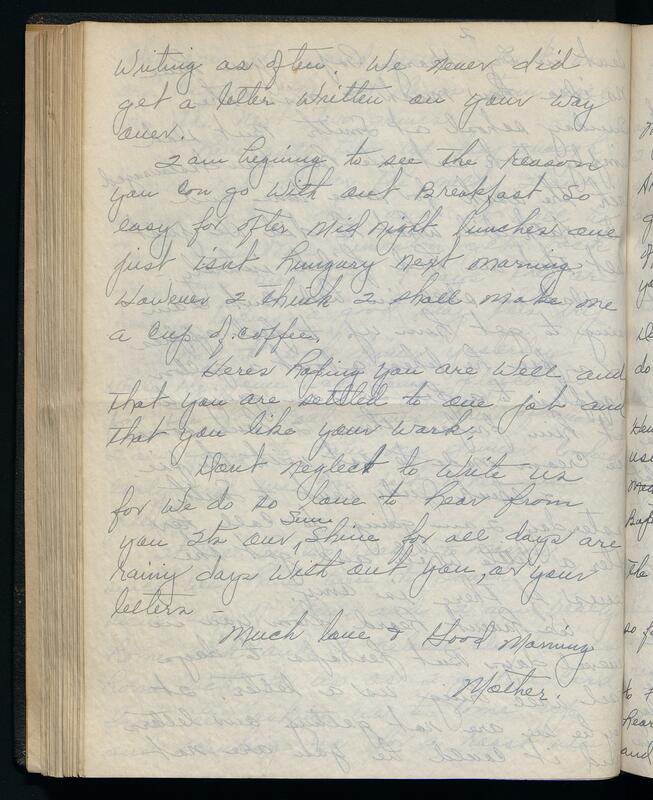 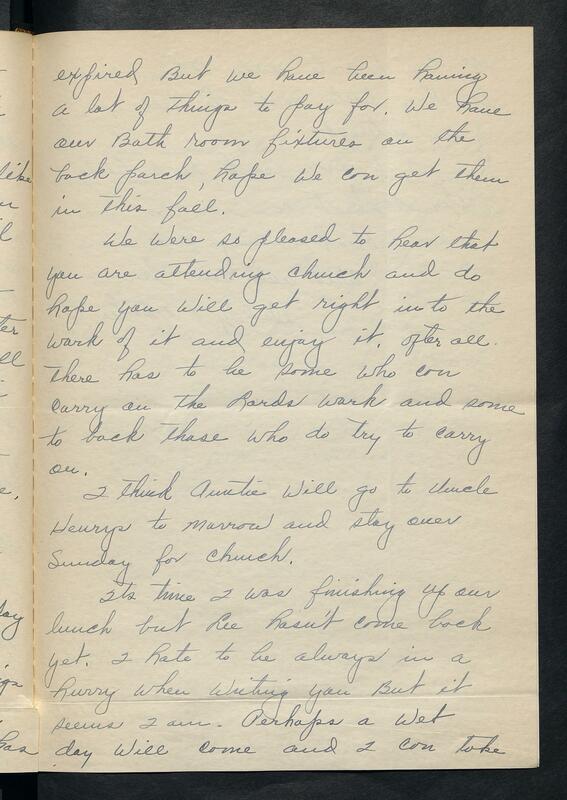 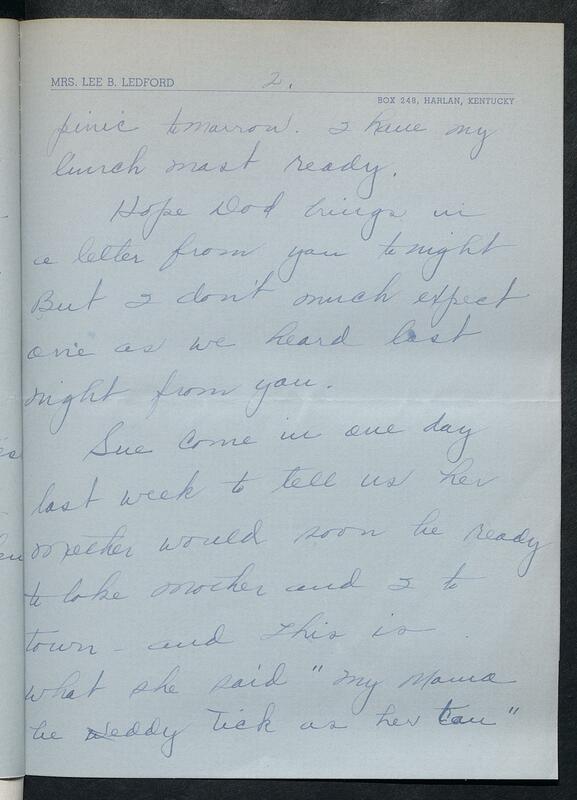 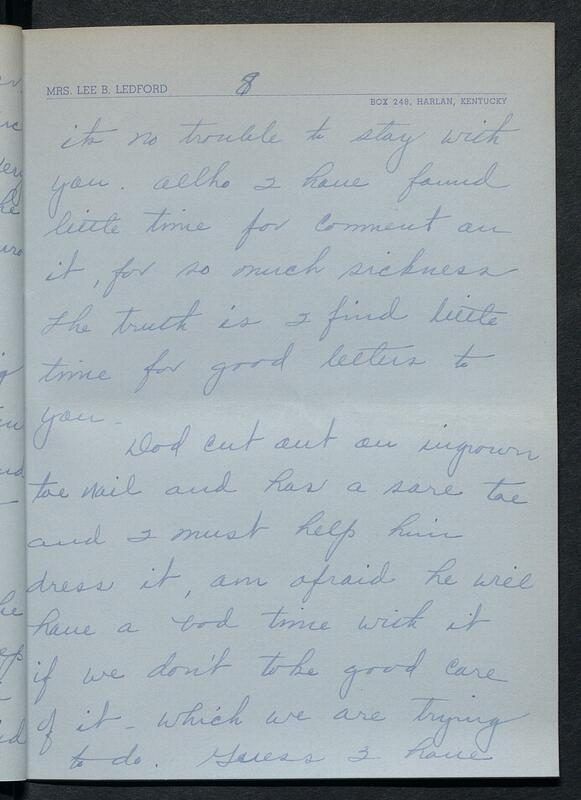 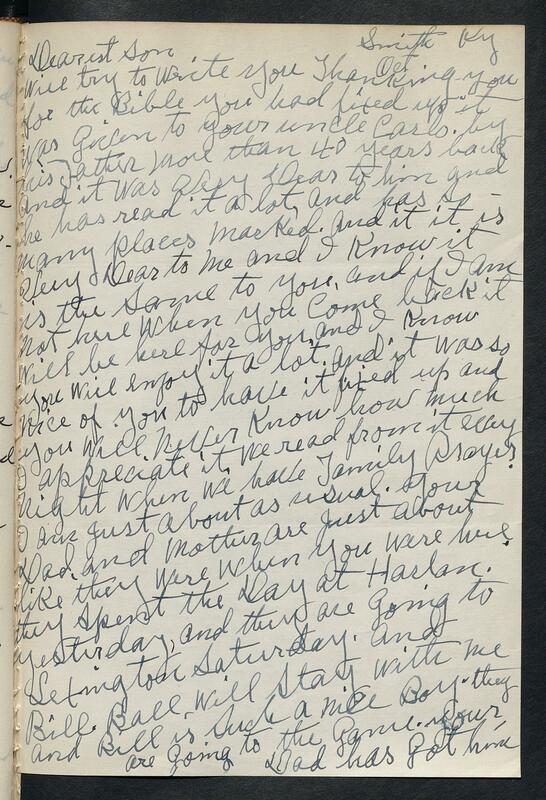 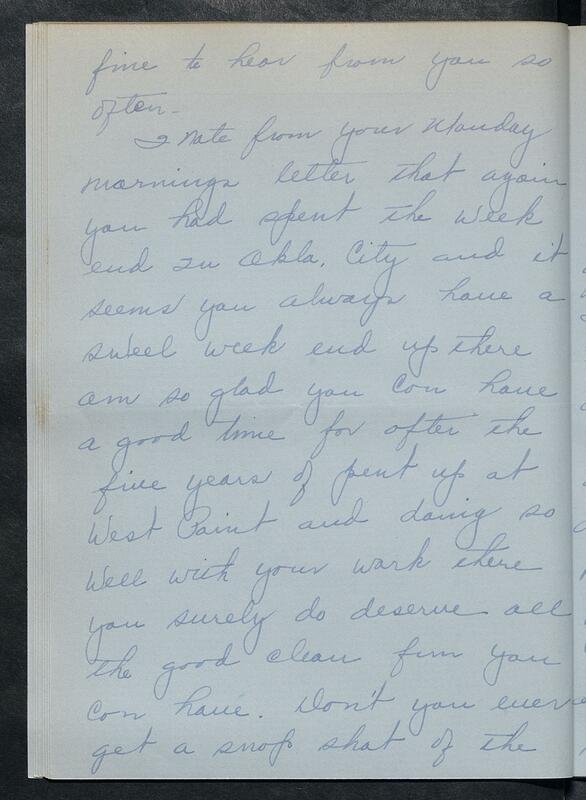 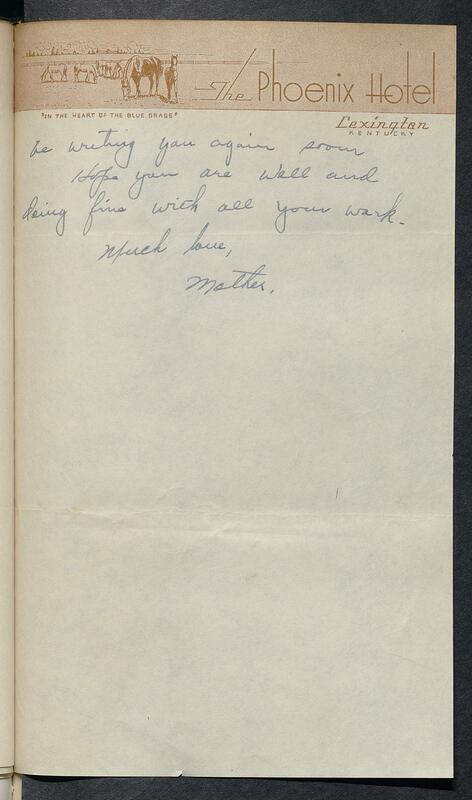 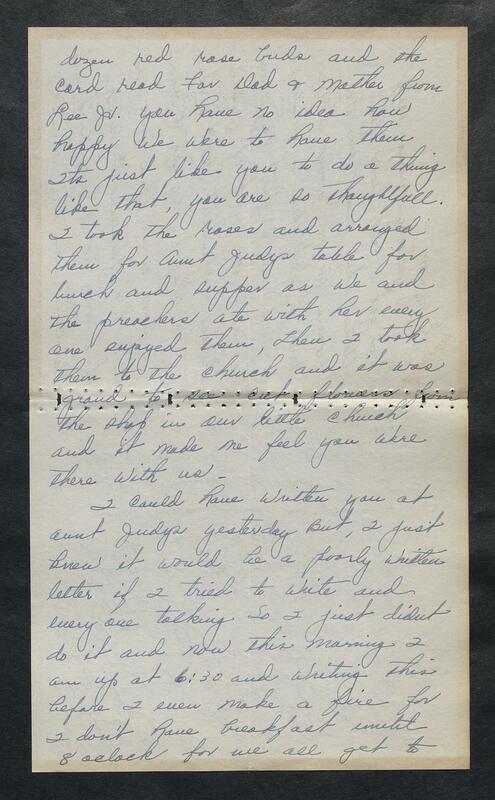 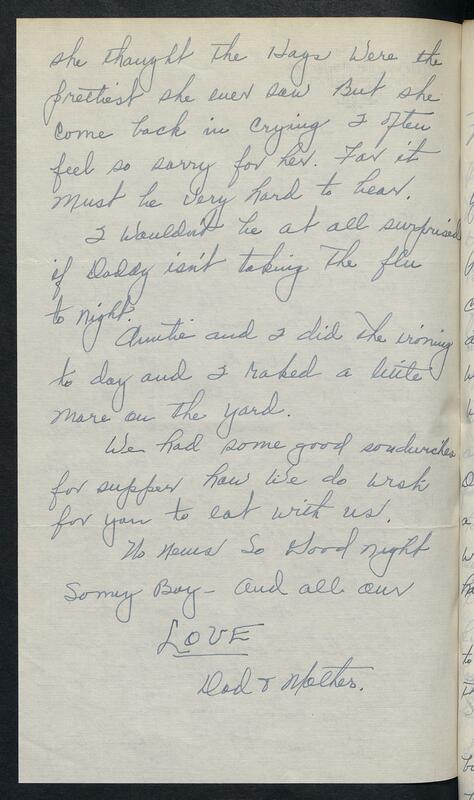 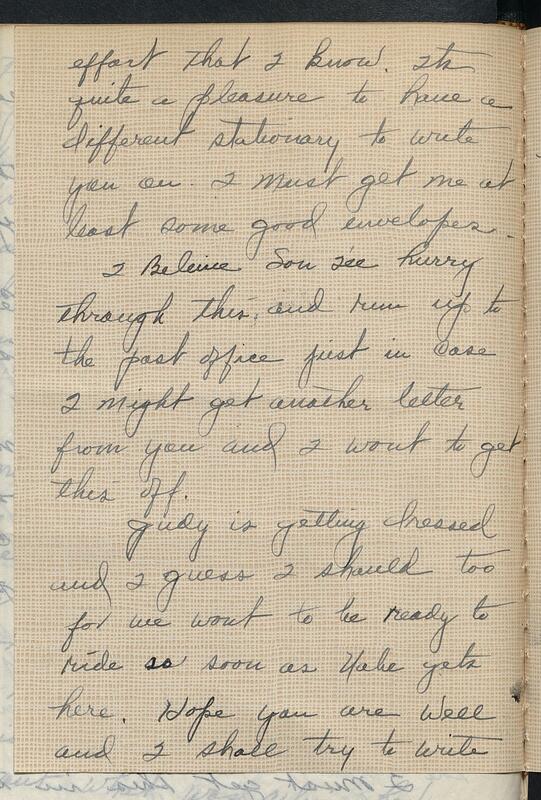 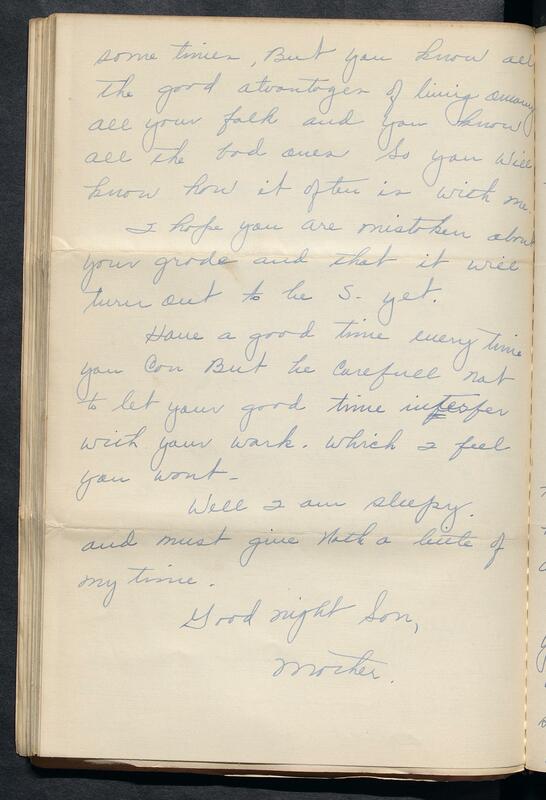 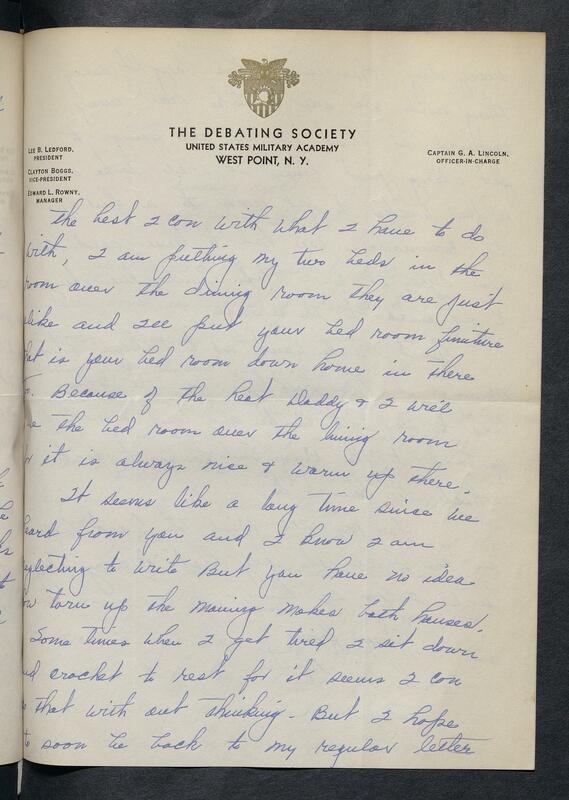 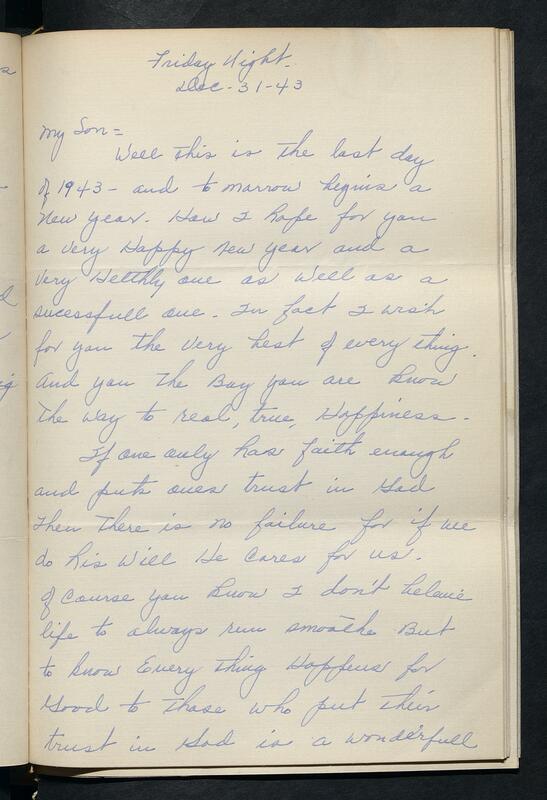 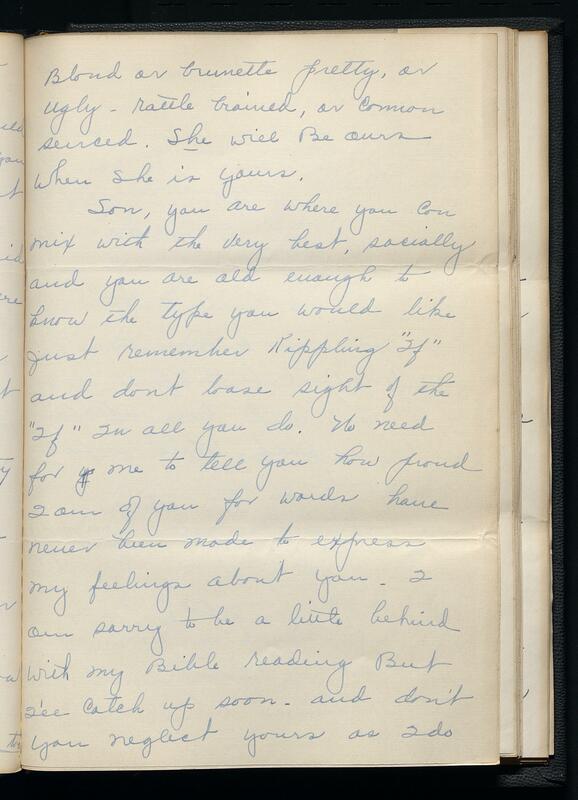 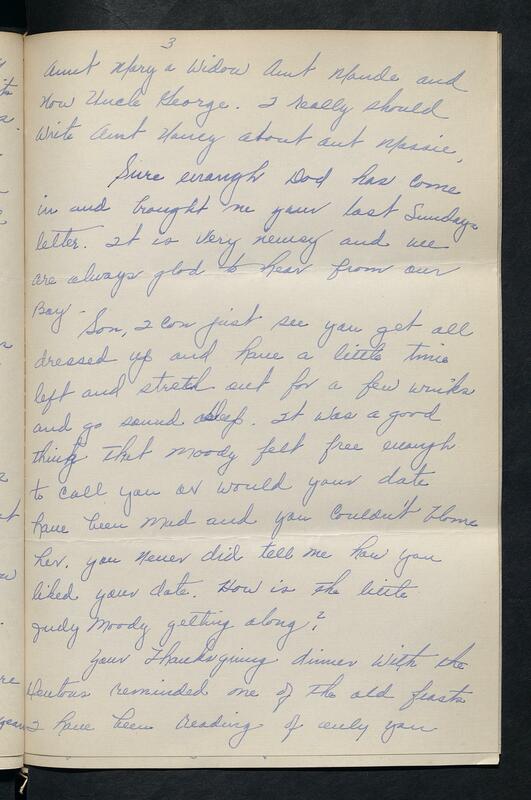 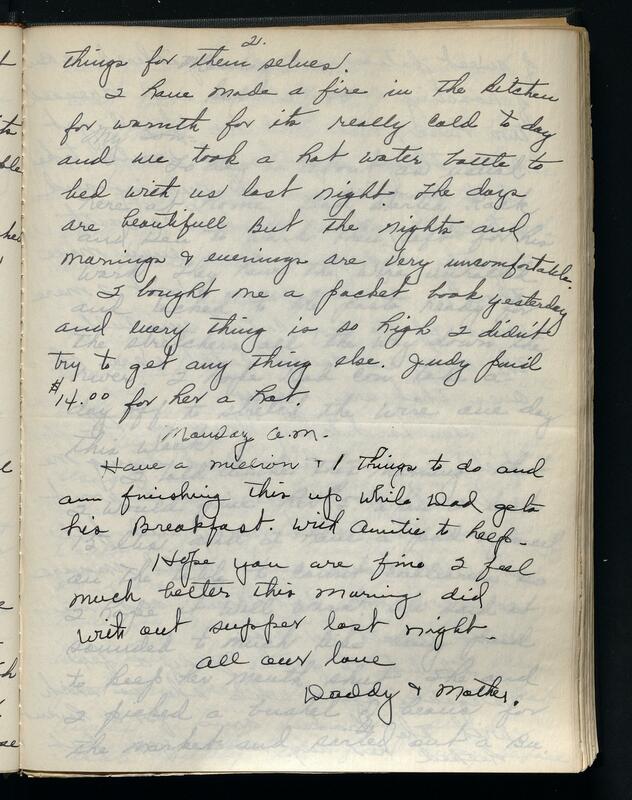 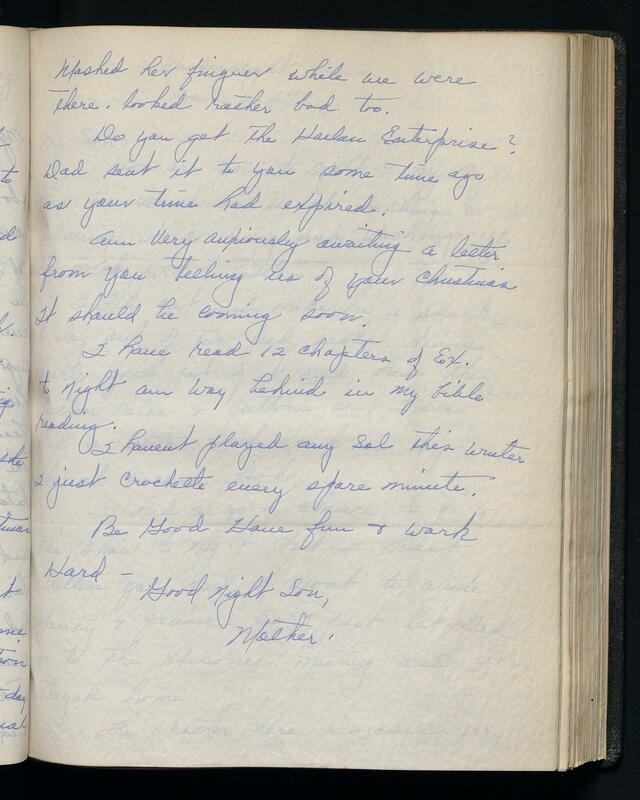 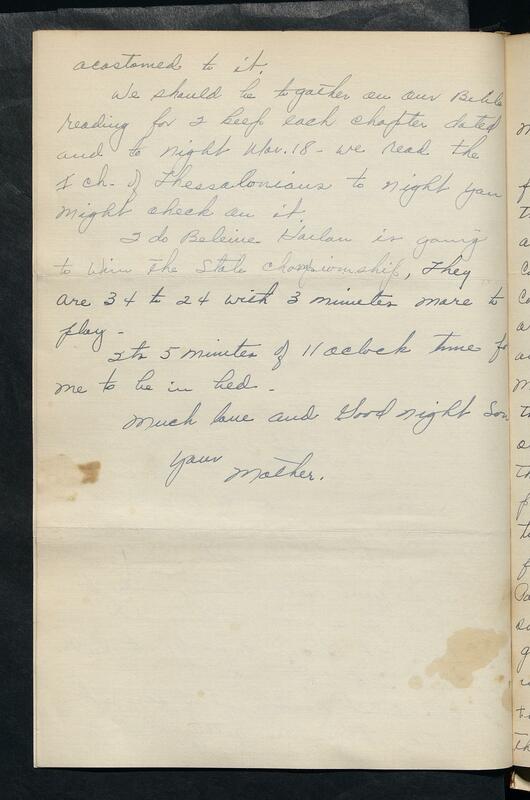 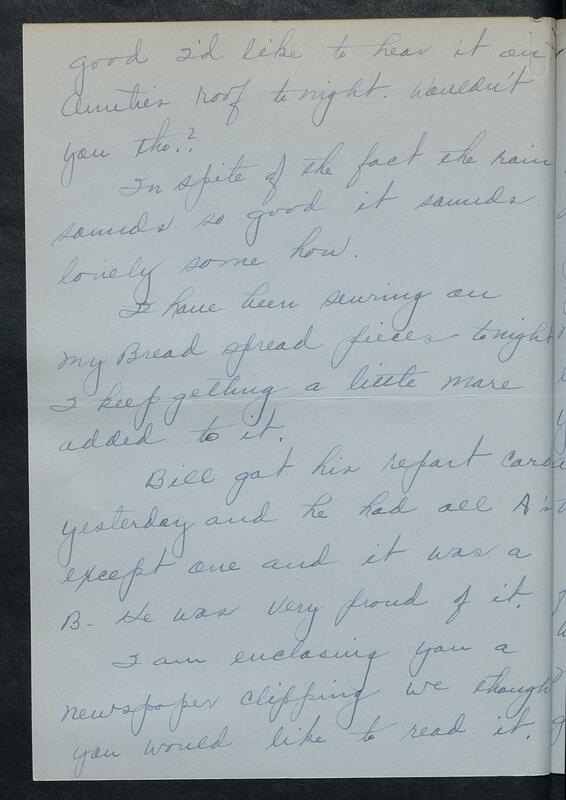 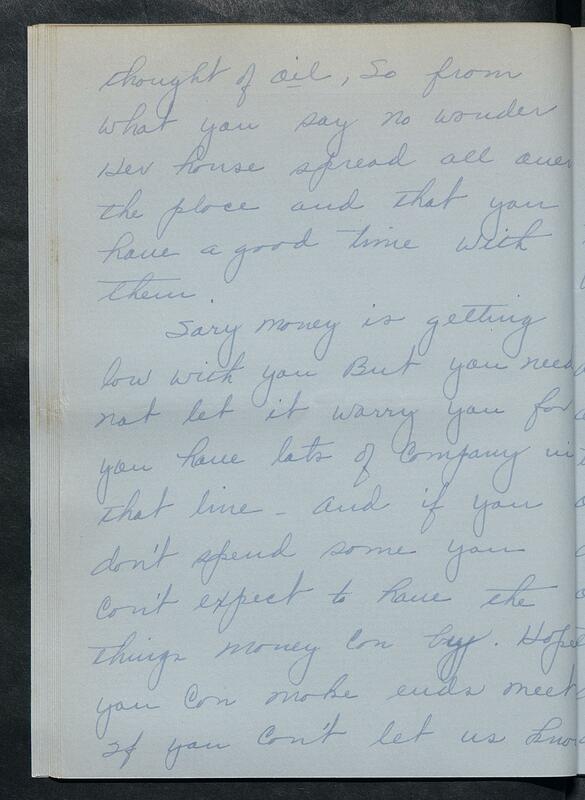 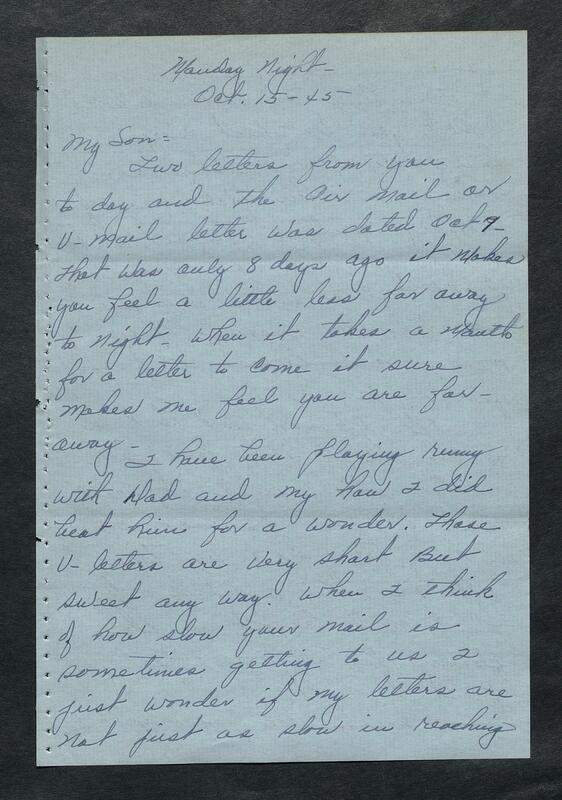 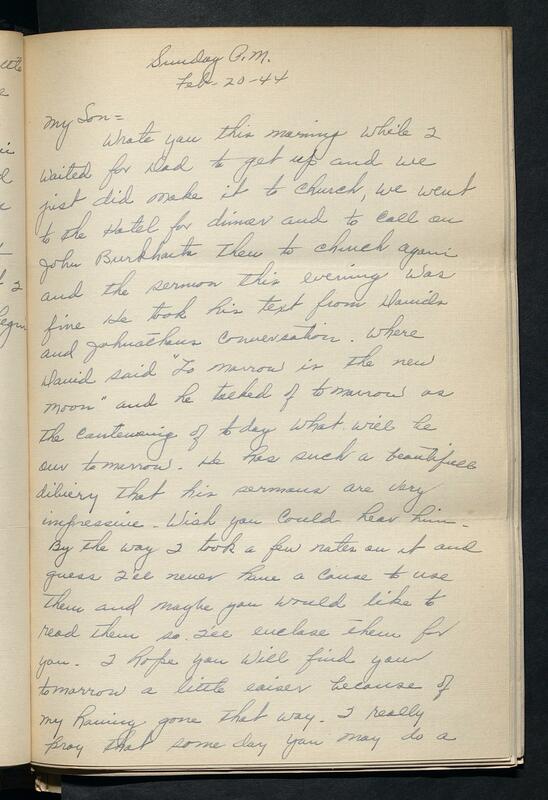 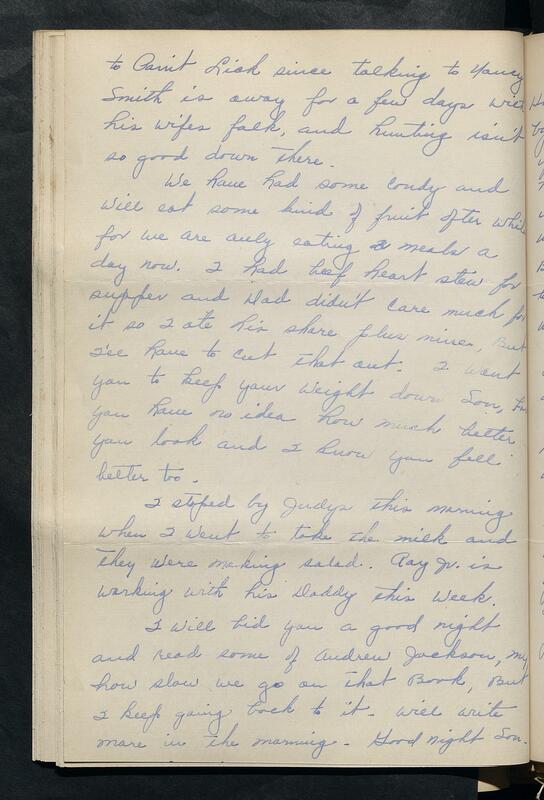 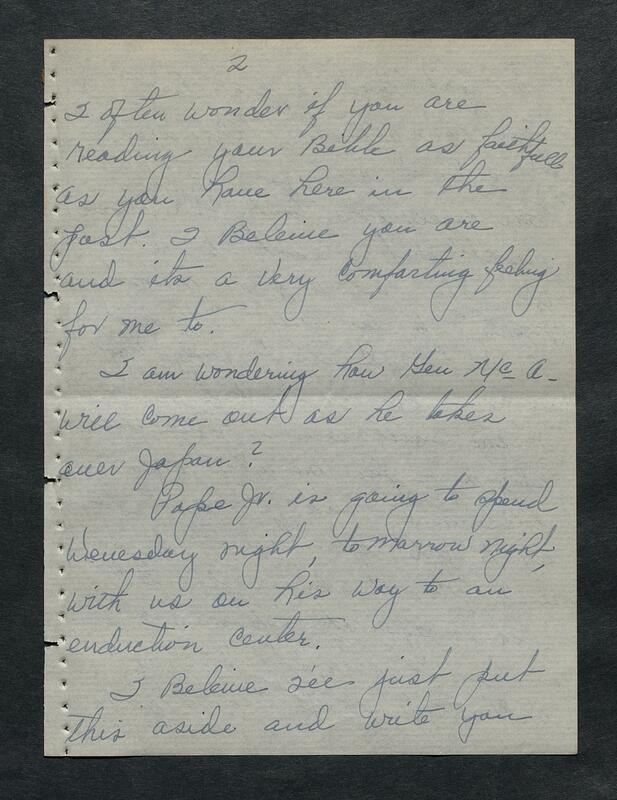 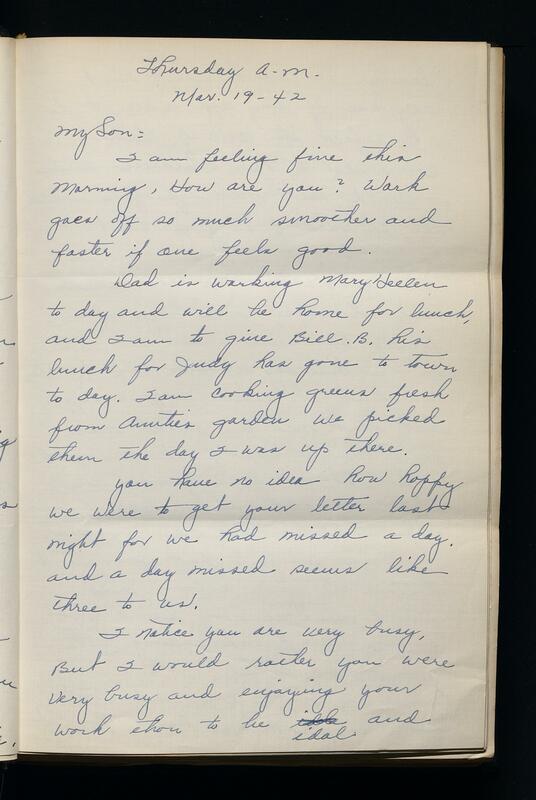 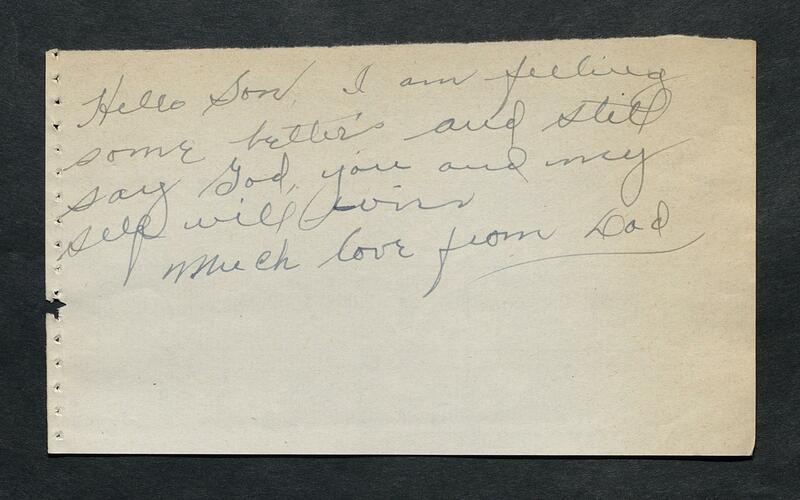 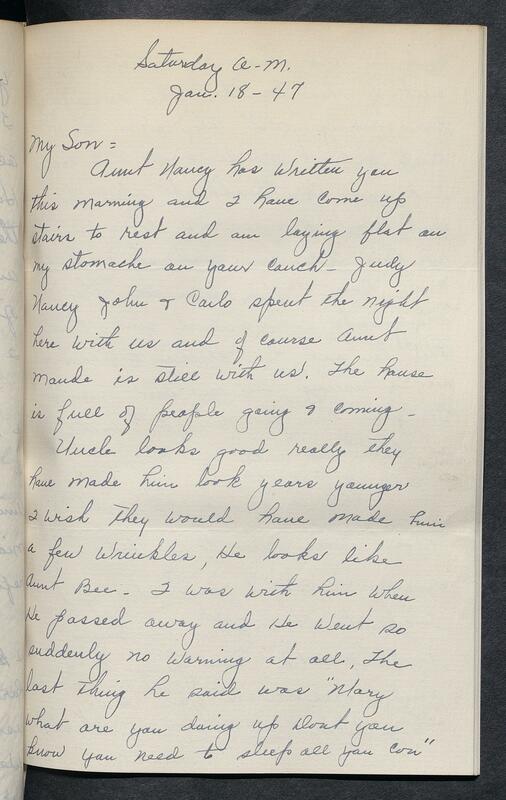 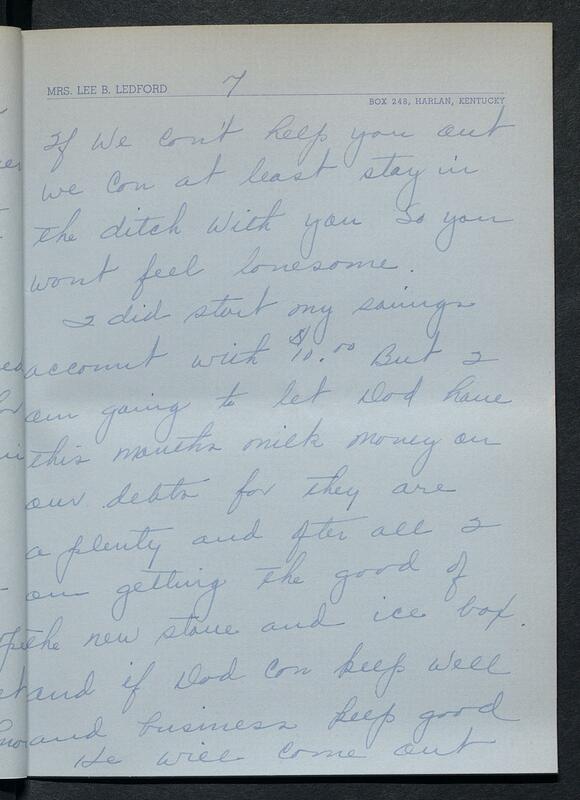 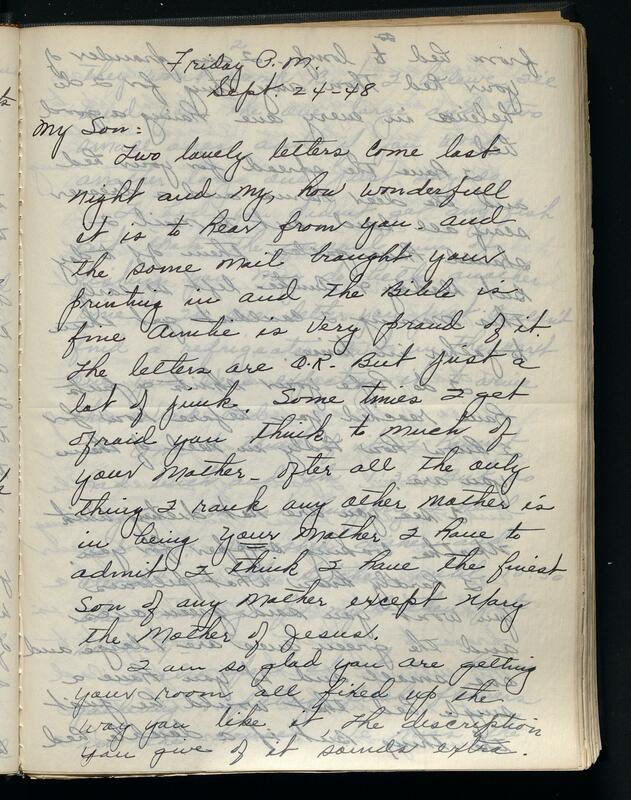 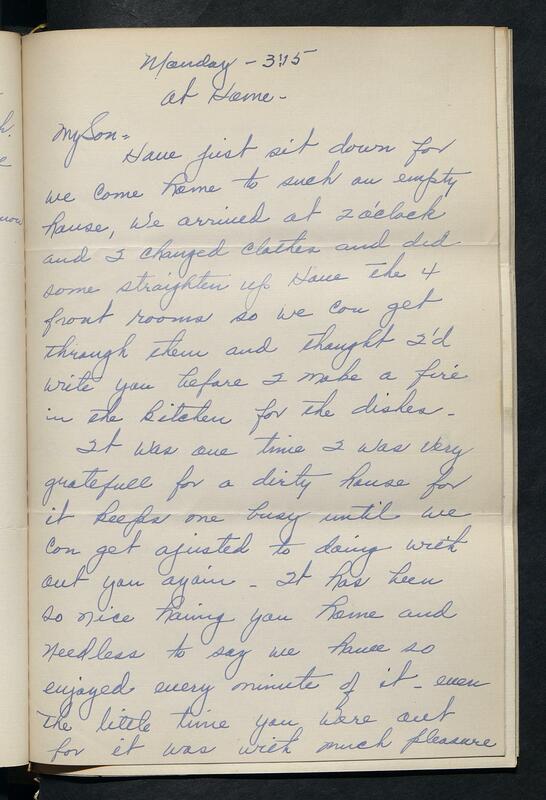 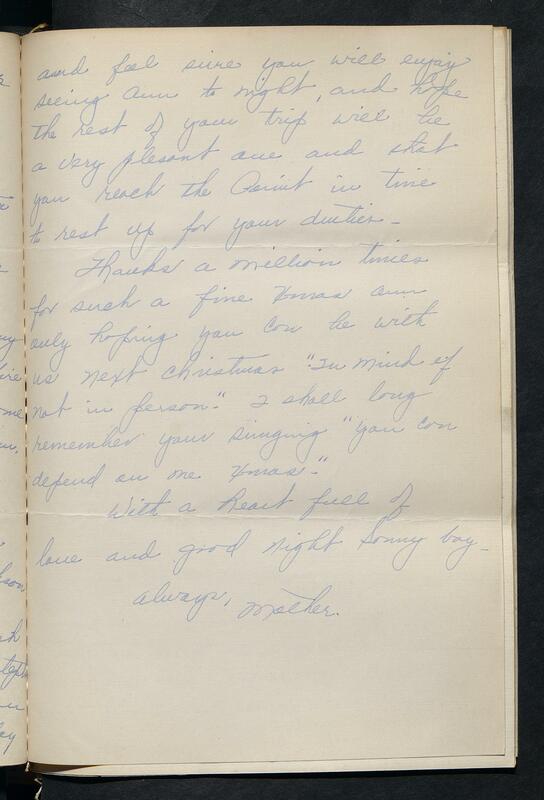 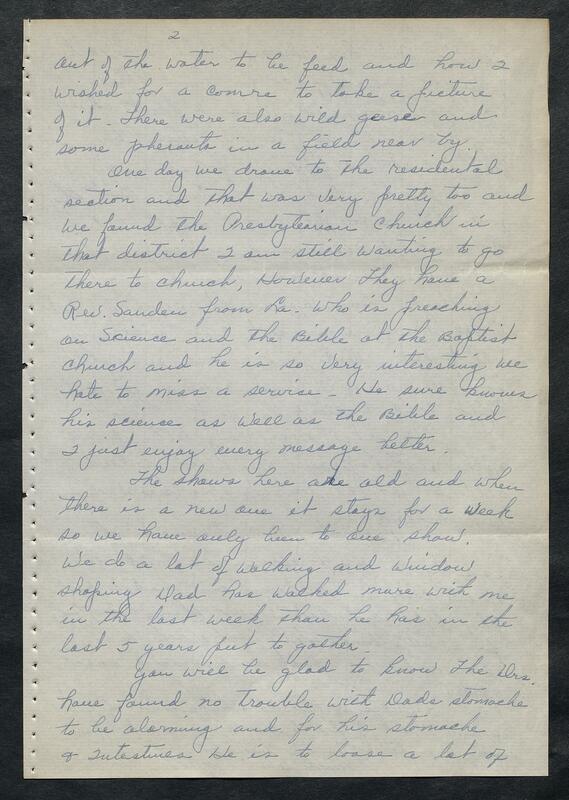 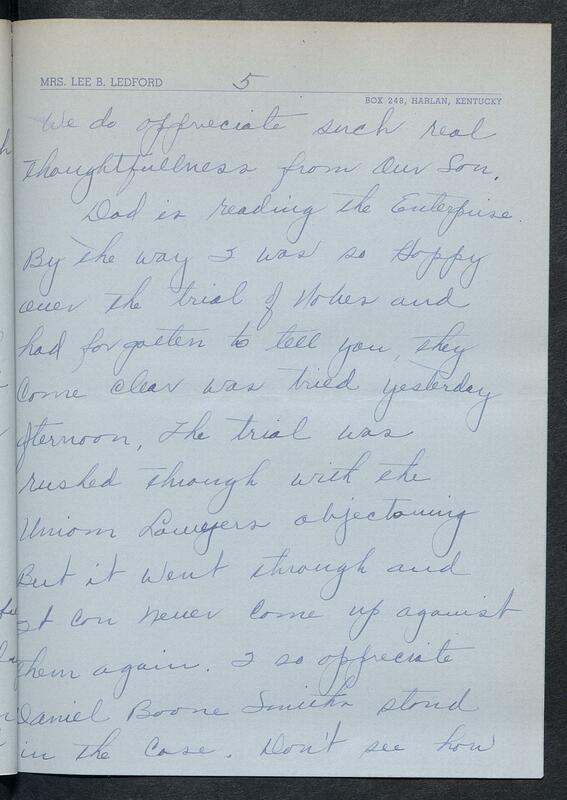 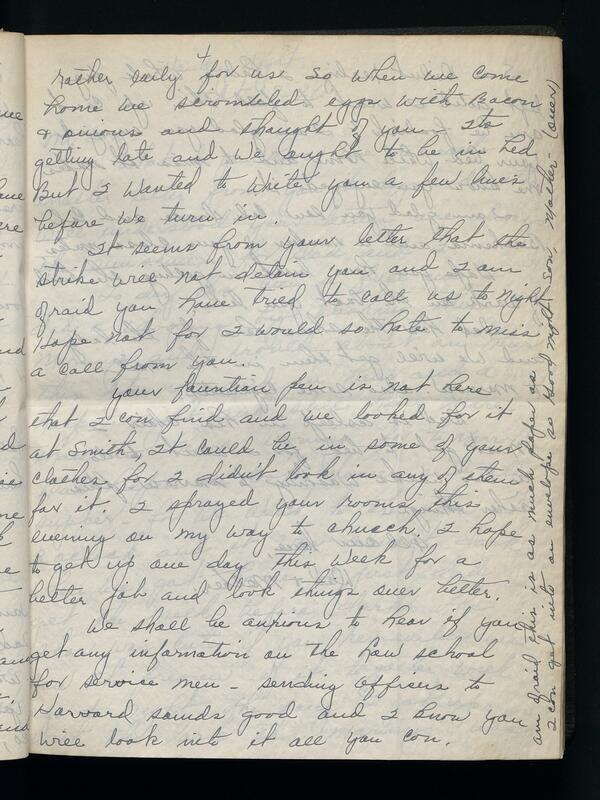 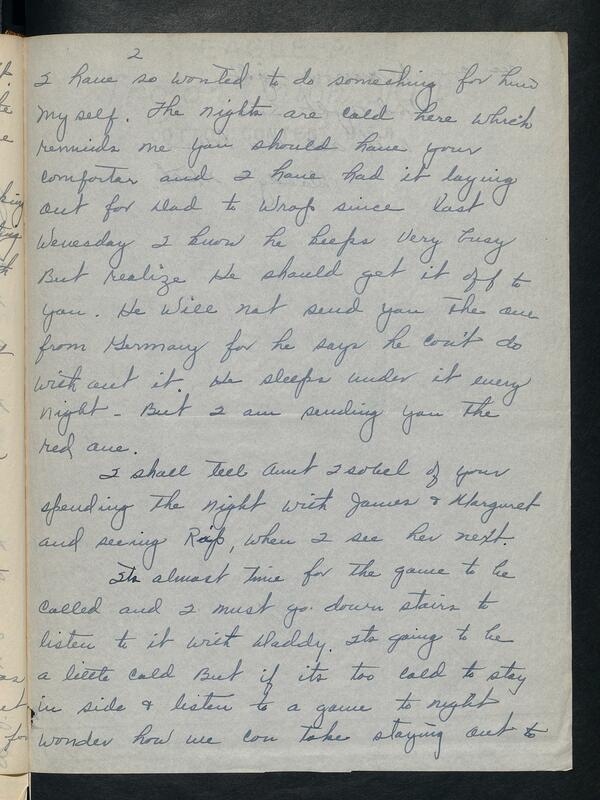 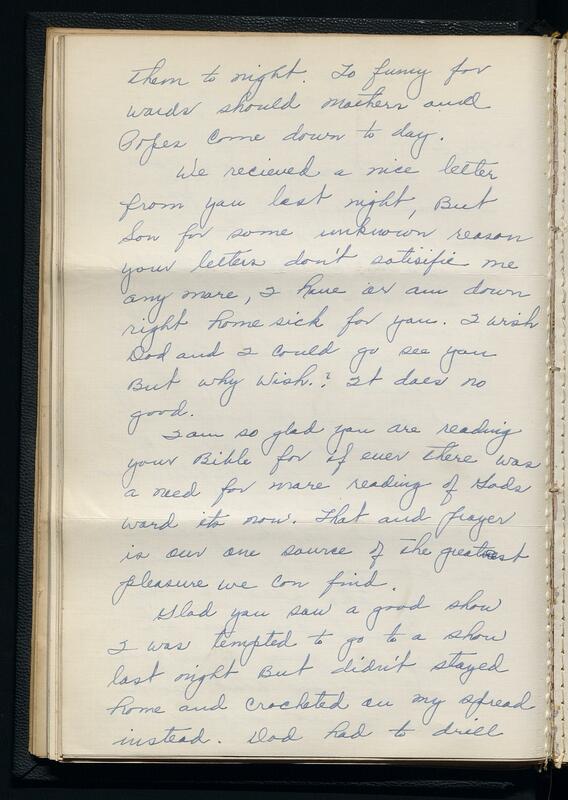 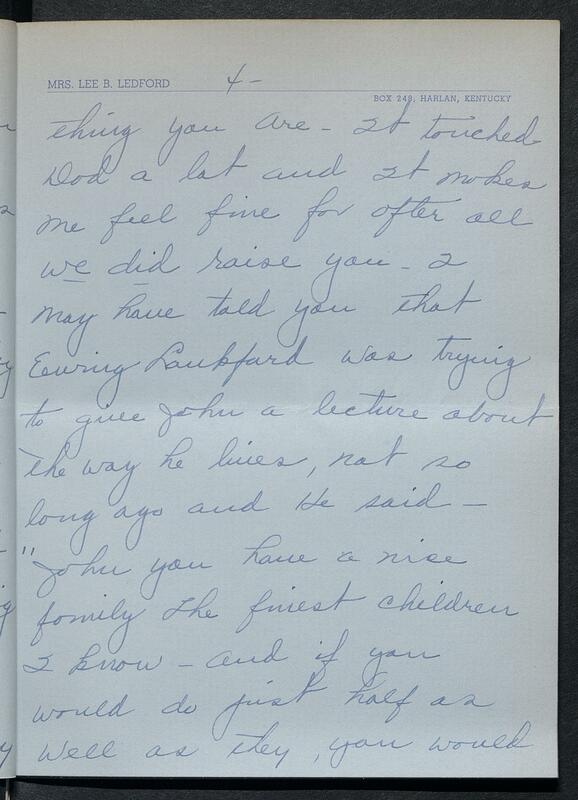 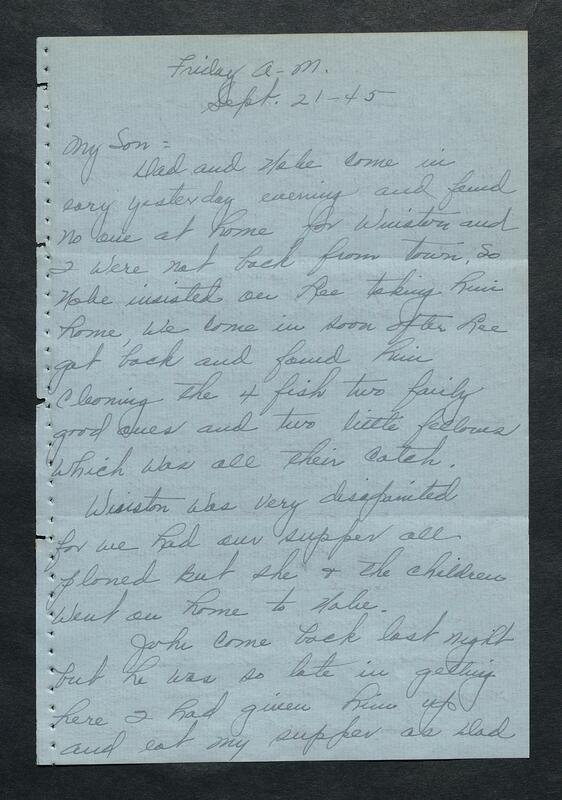 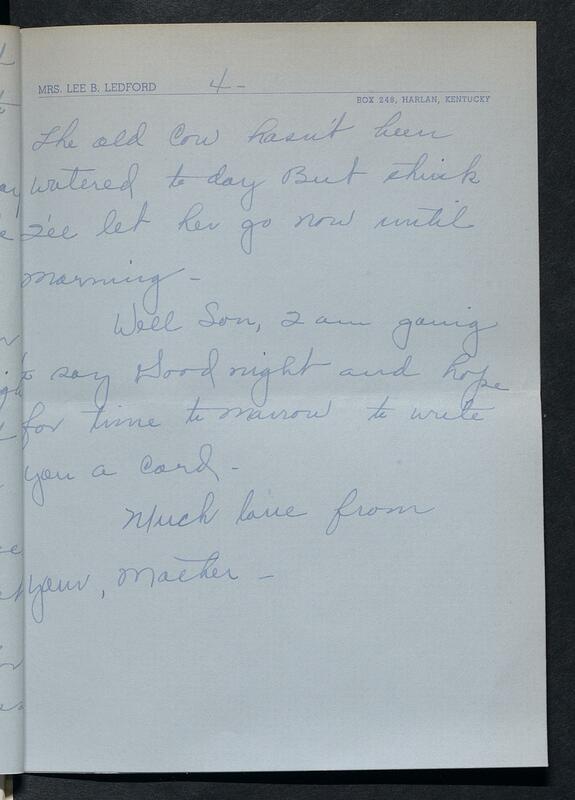 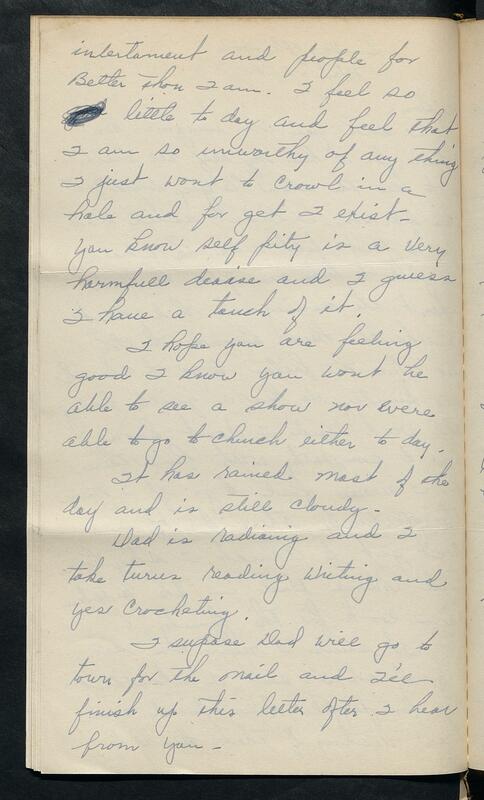 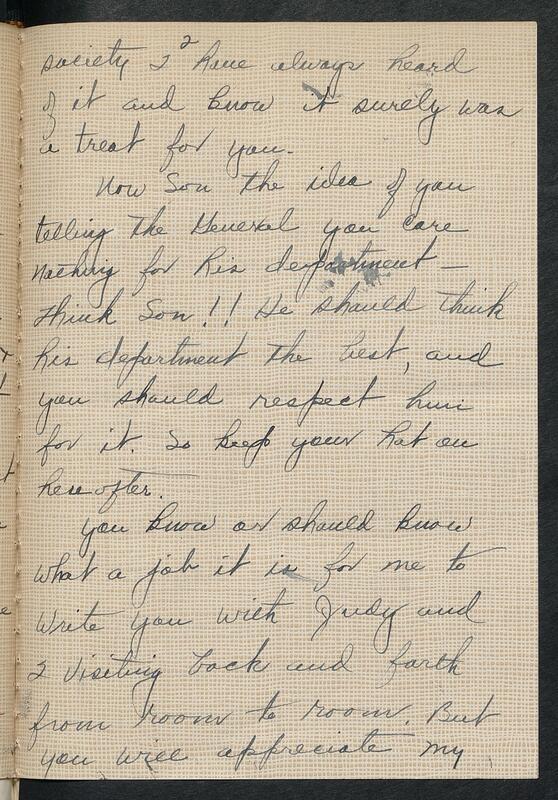 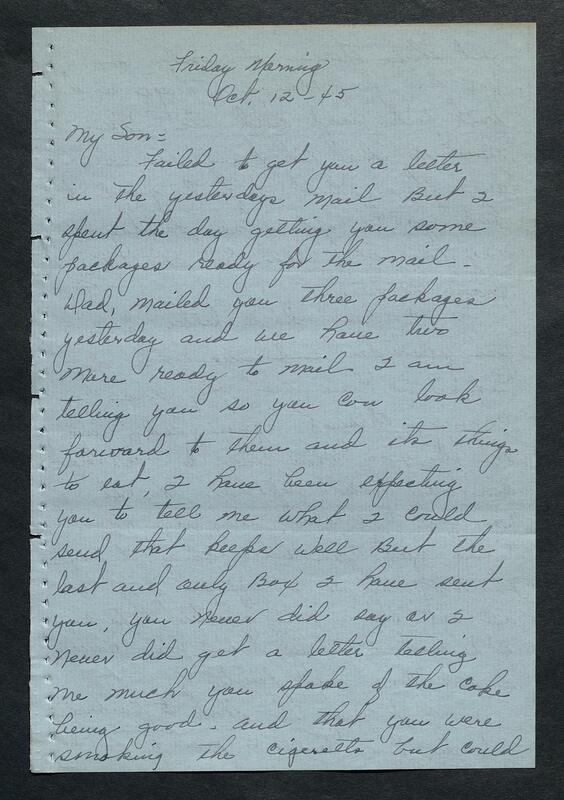 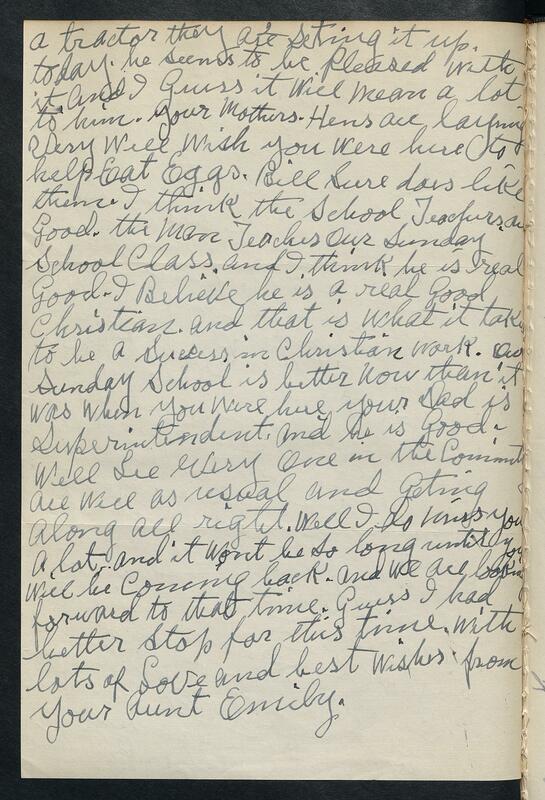 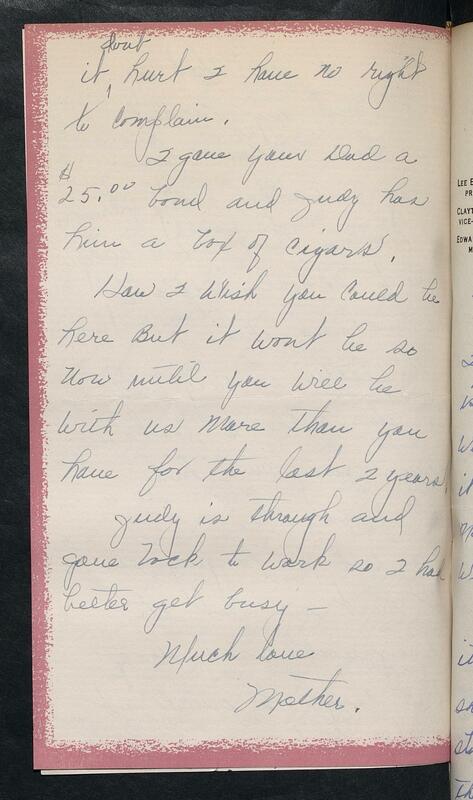 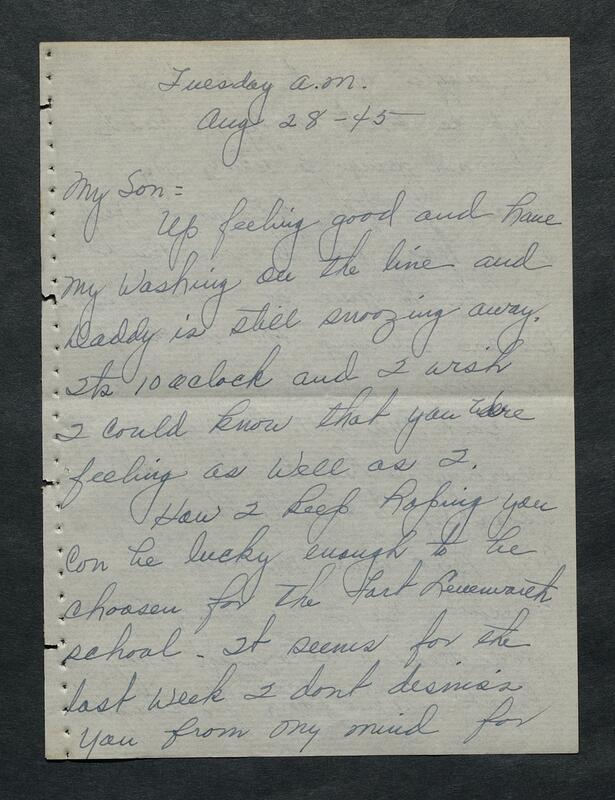 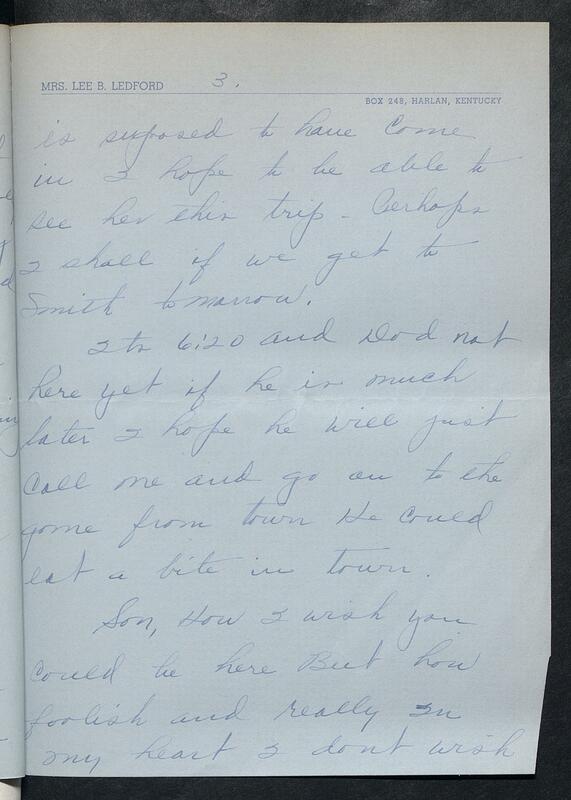 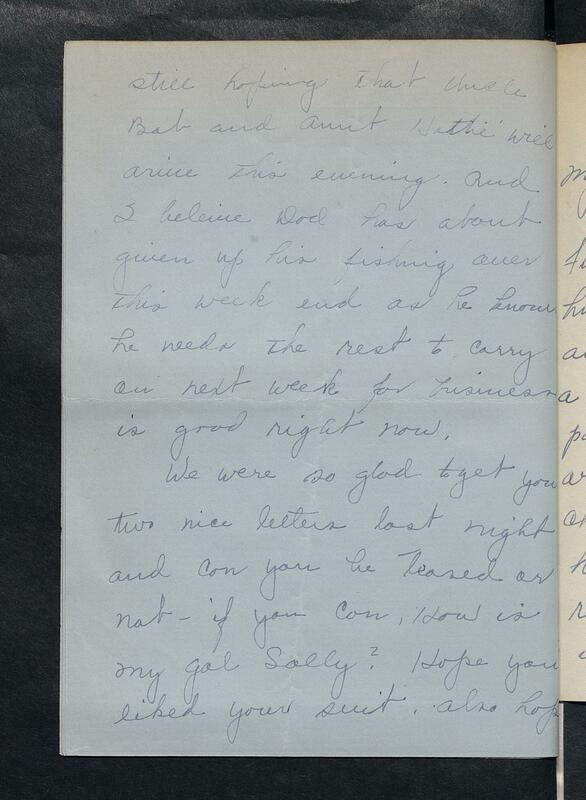 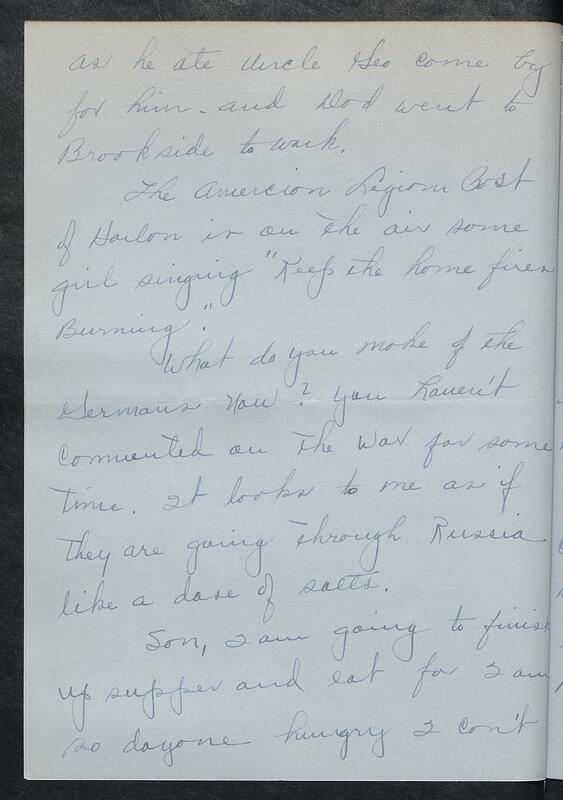 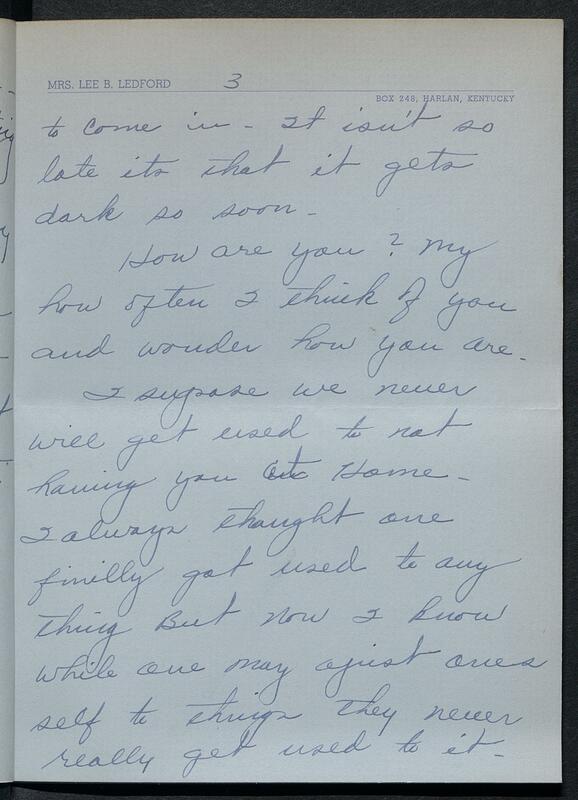 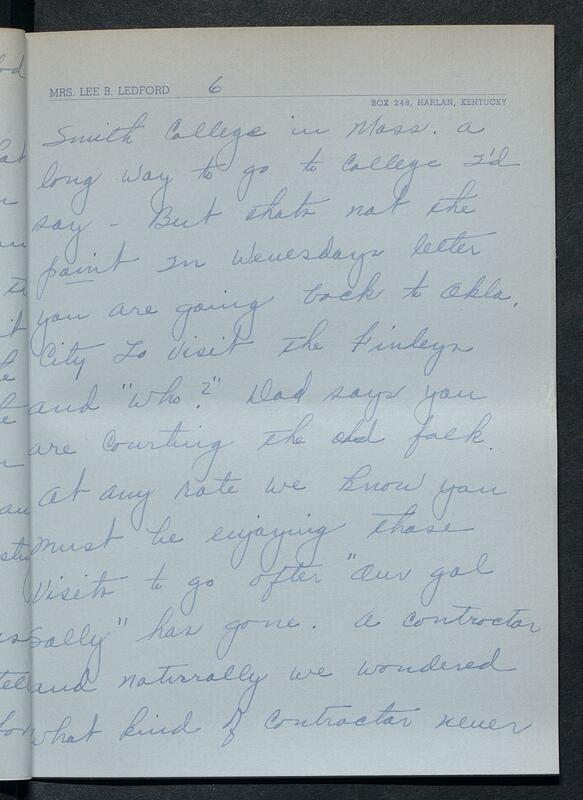 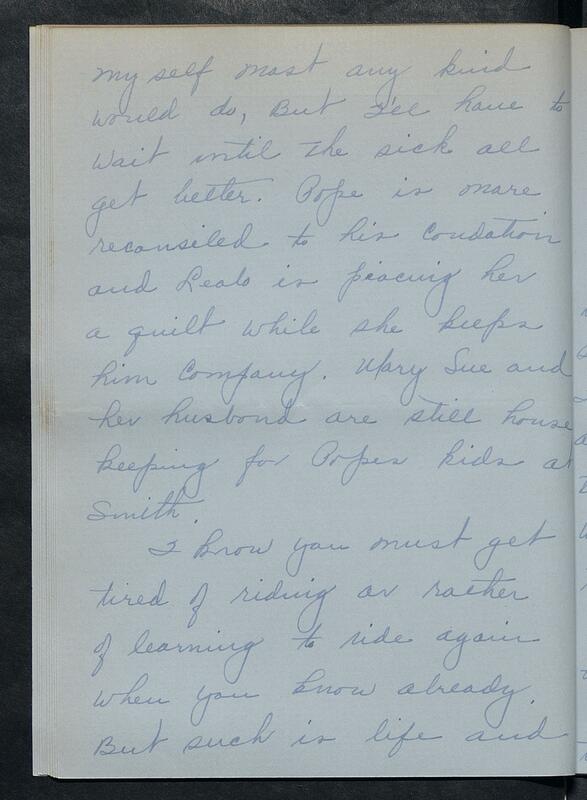 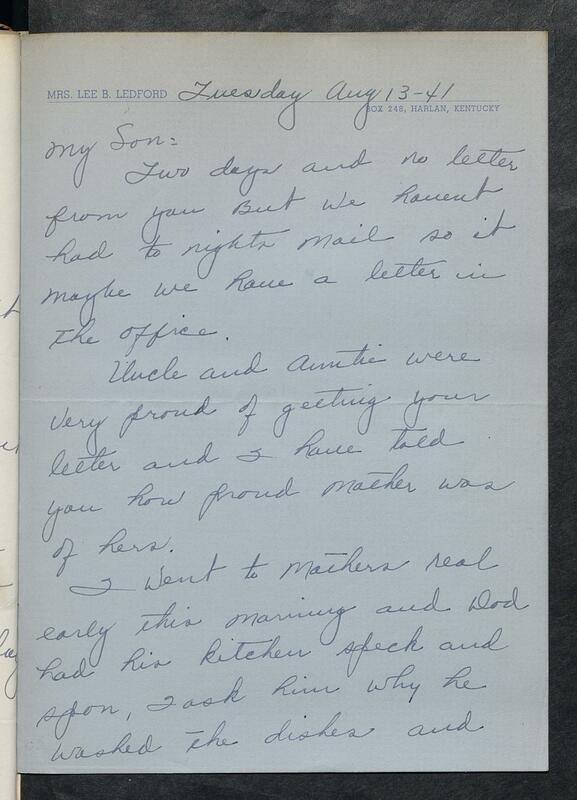 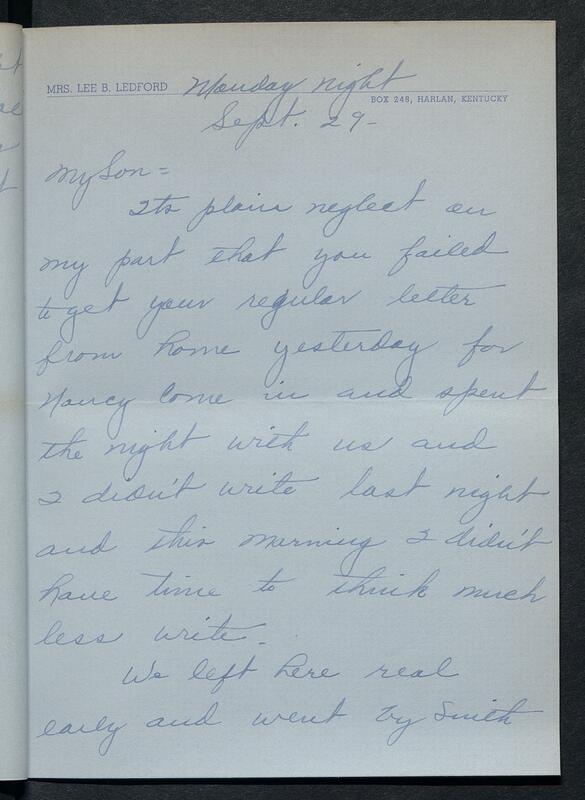 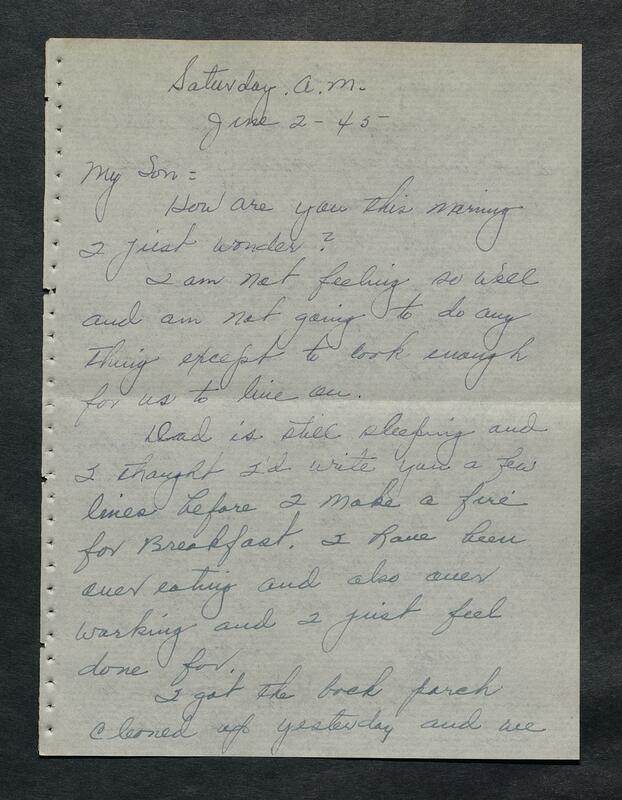 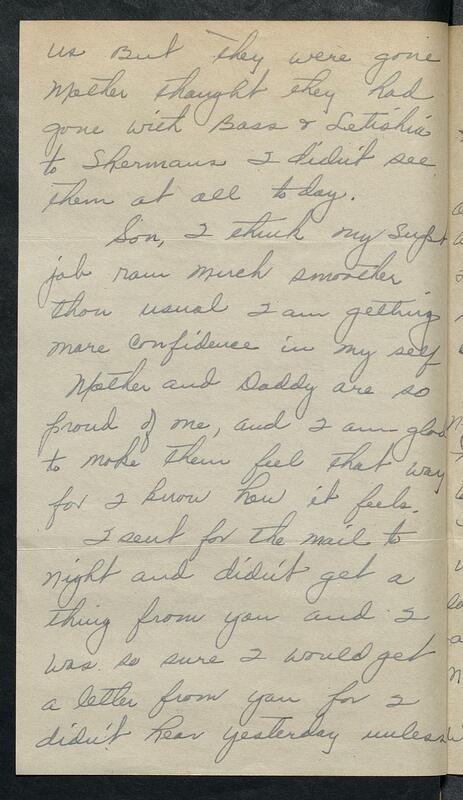 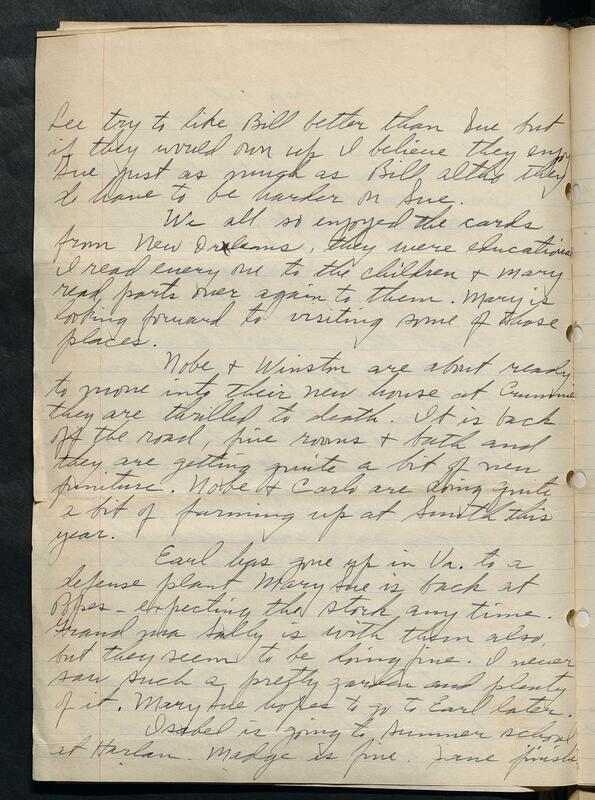 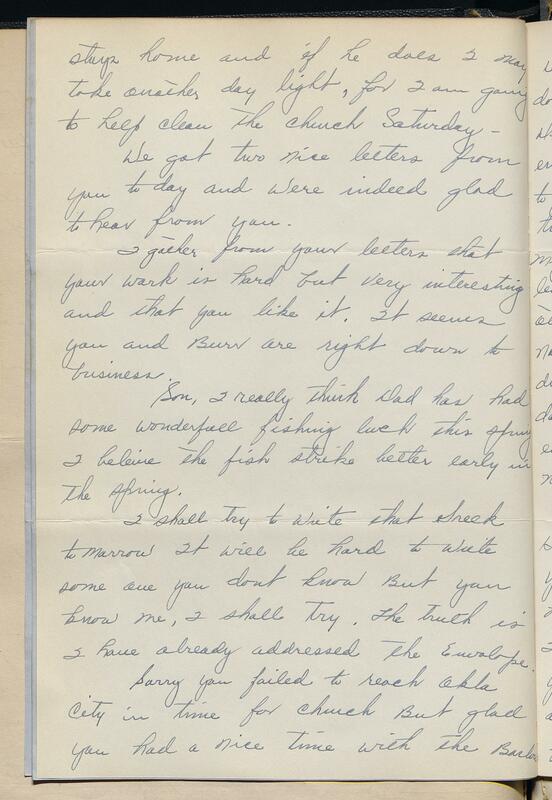 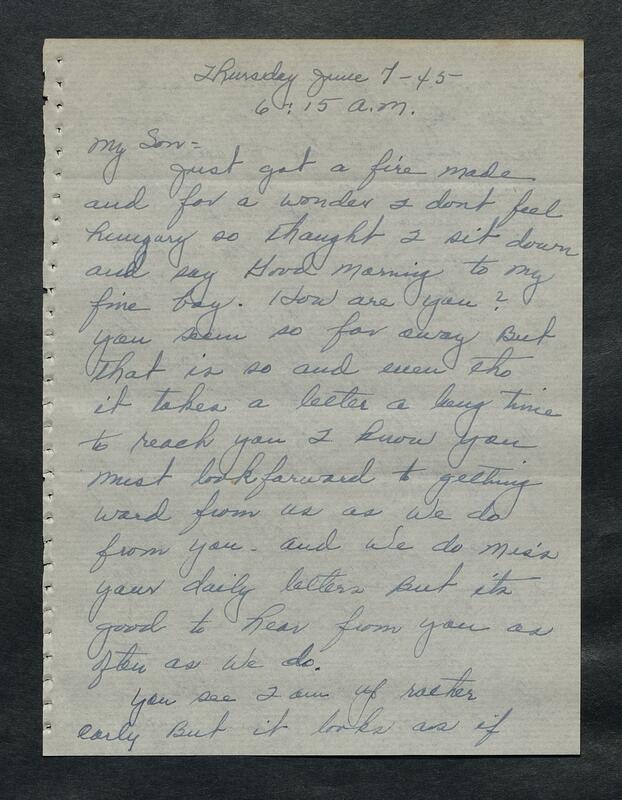 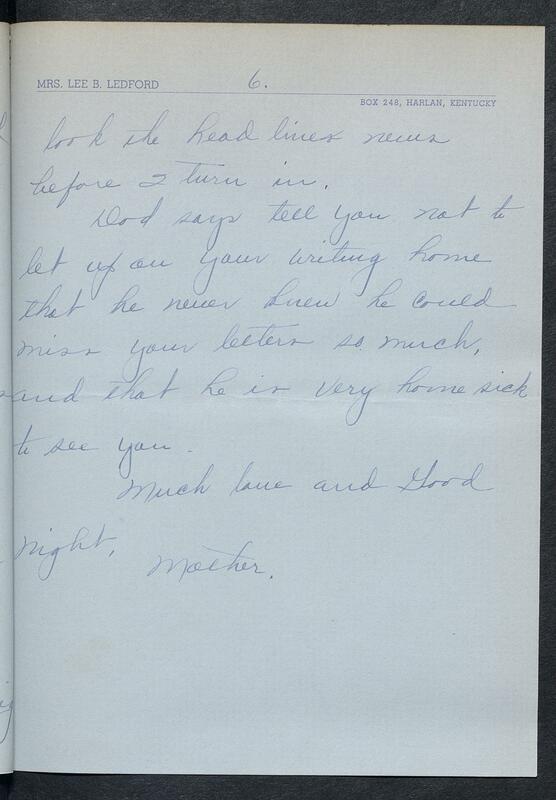 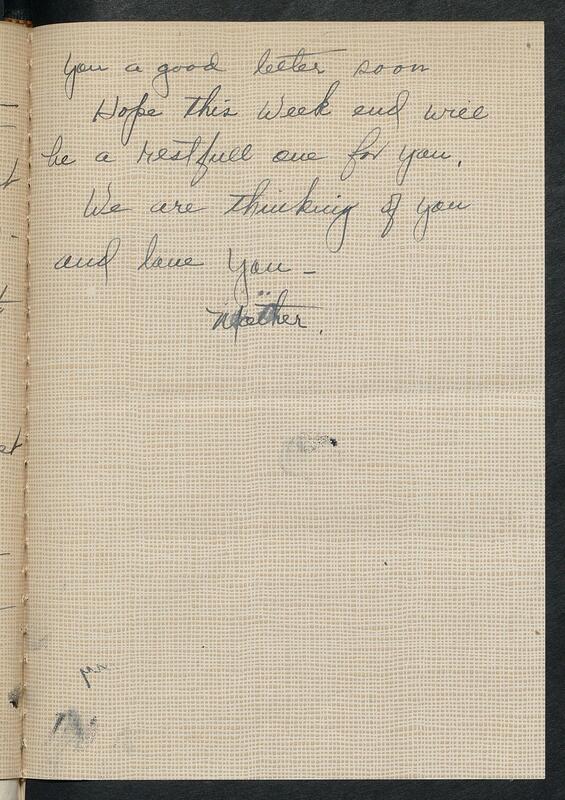 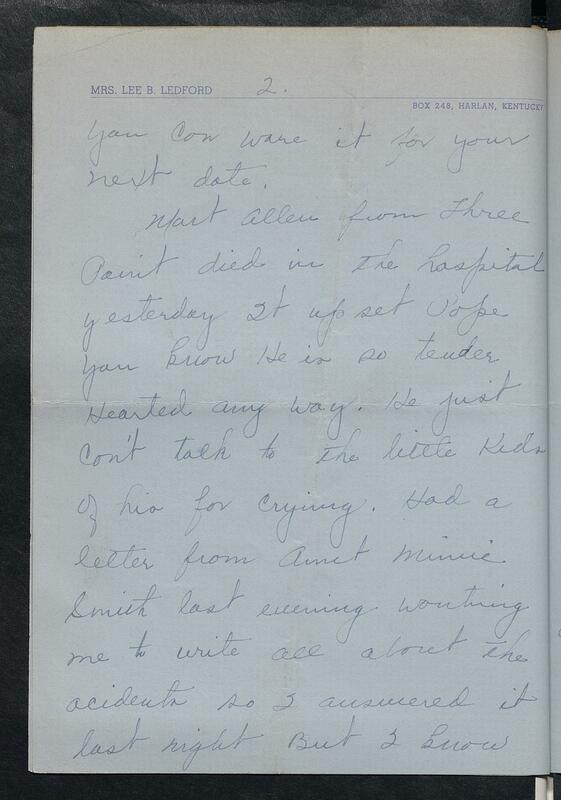 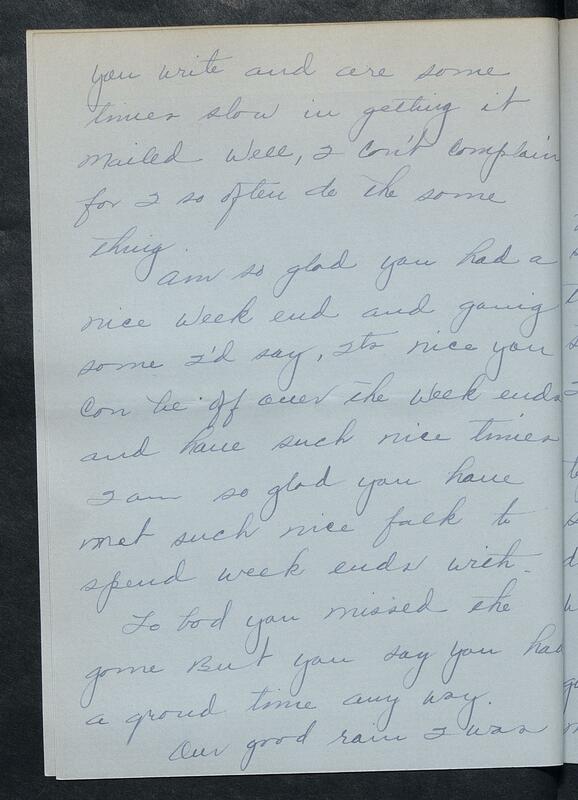 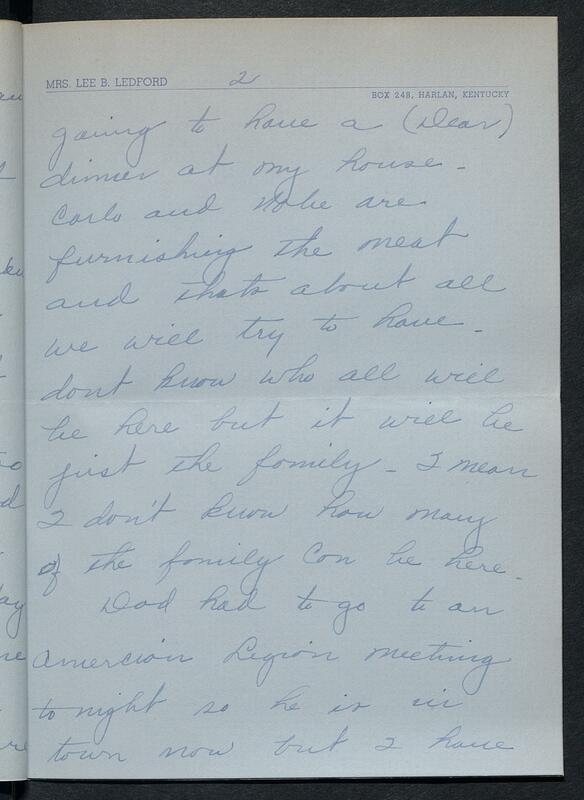 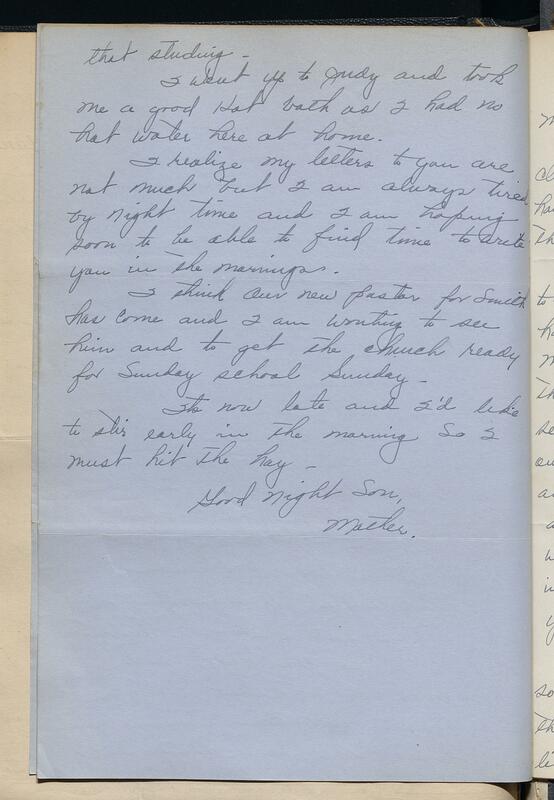 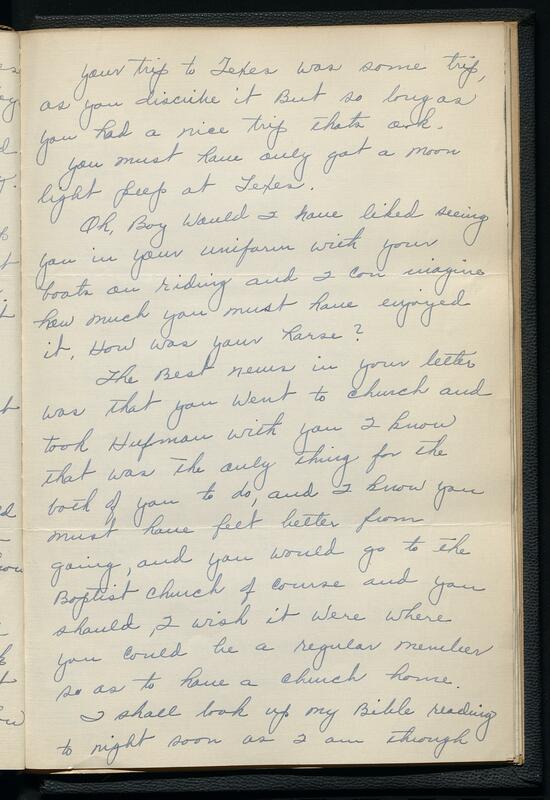 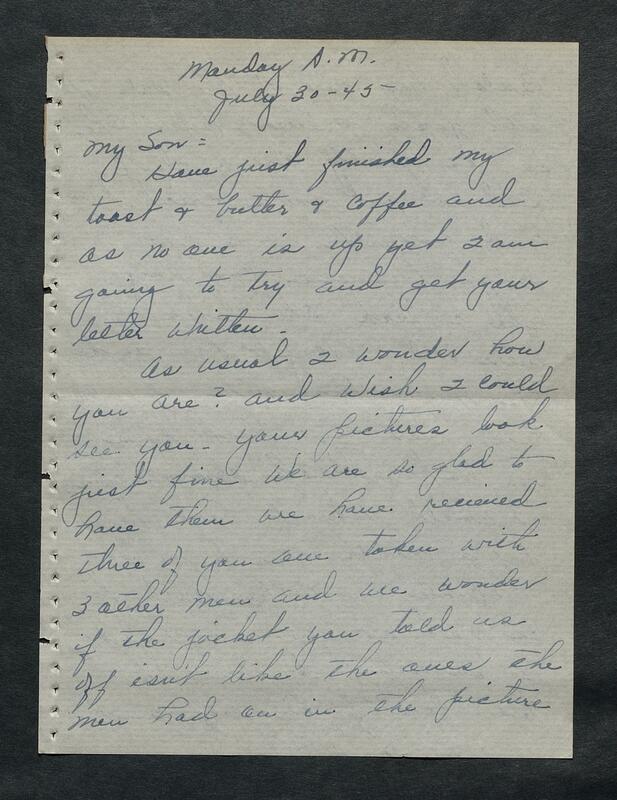 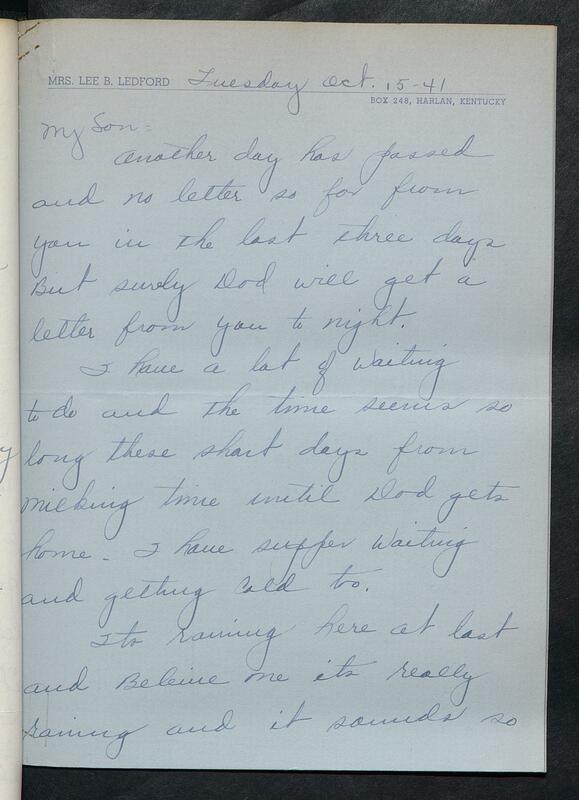 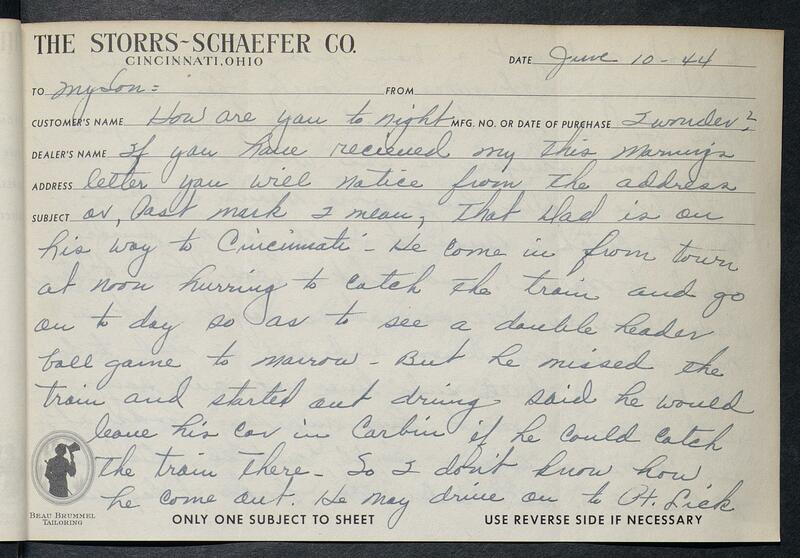 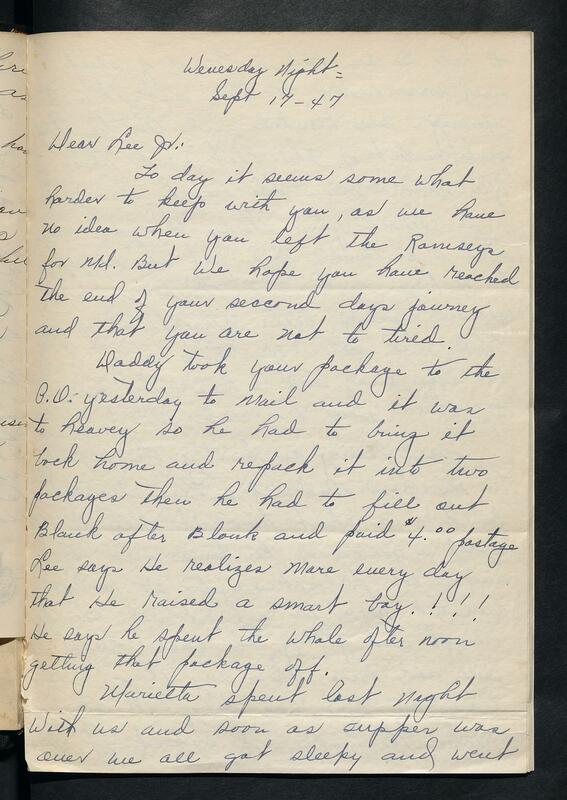 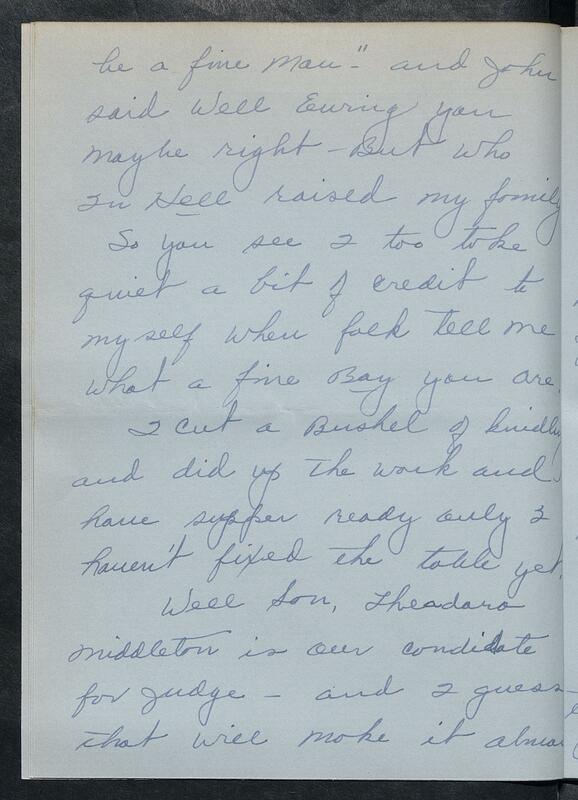 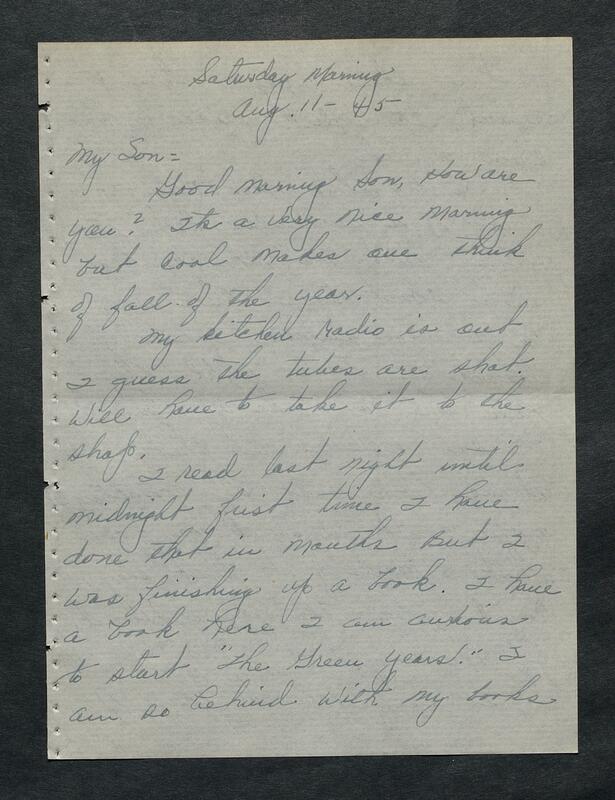 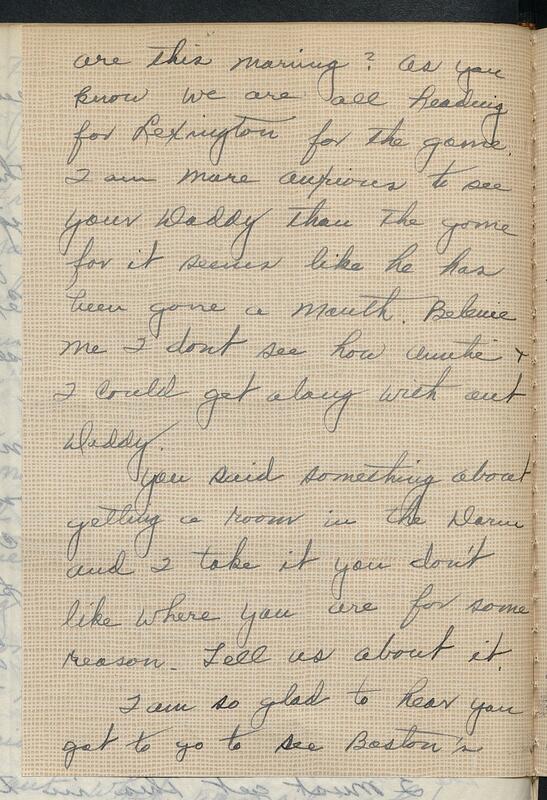 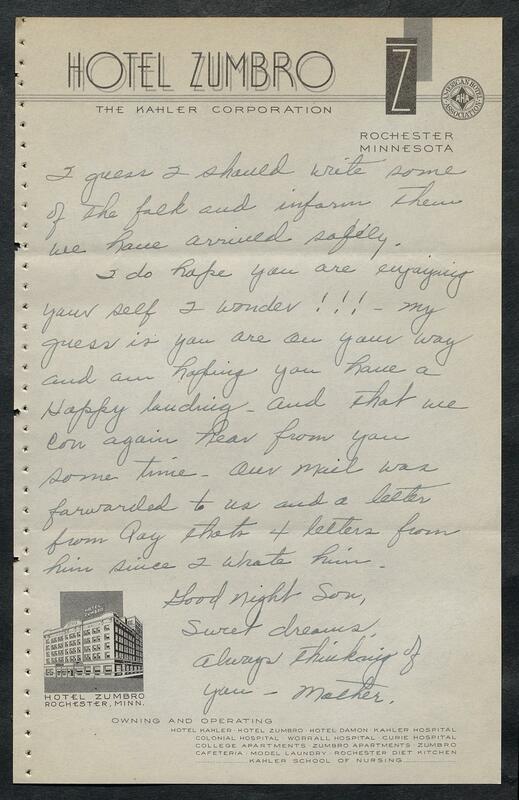 In the eighth volume of letters (1951-1953), Mary begins addressing her letters to "My sons". 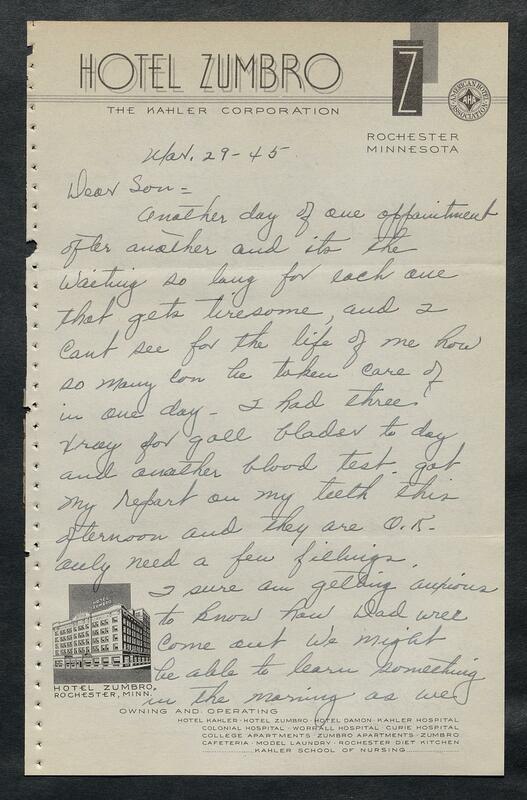 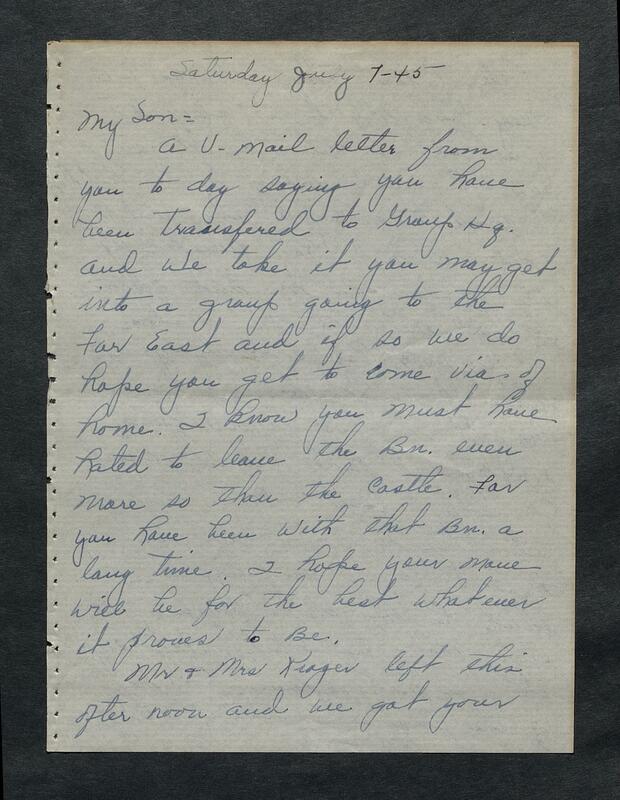 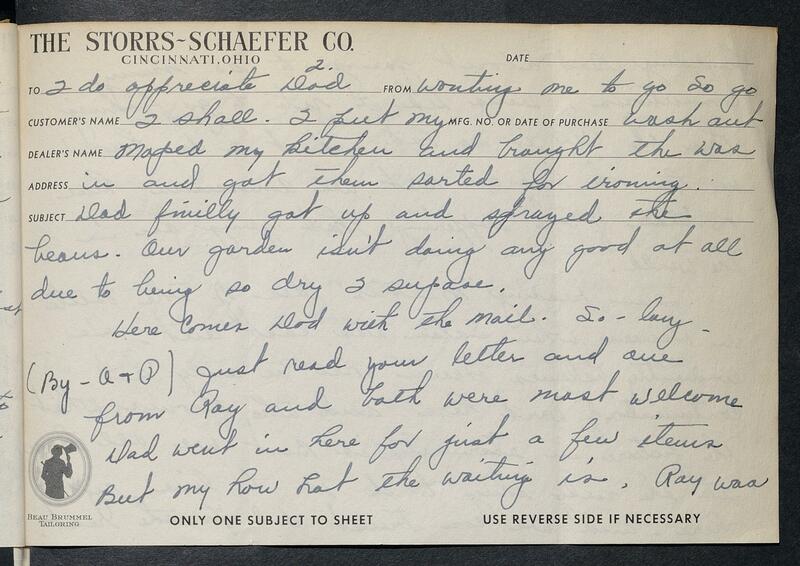 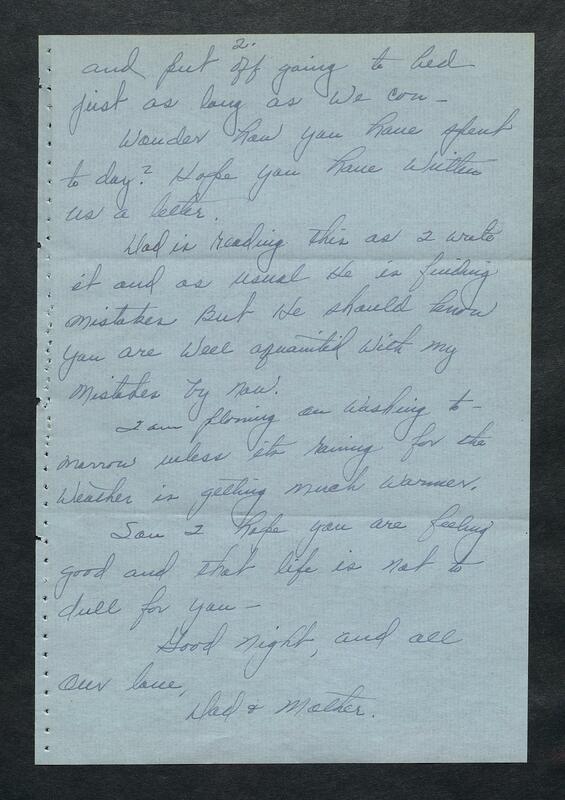 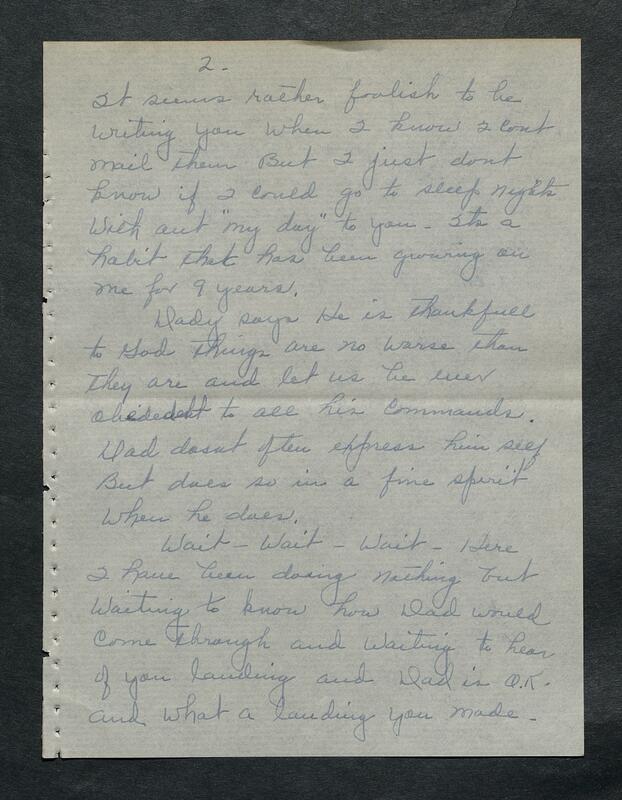 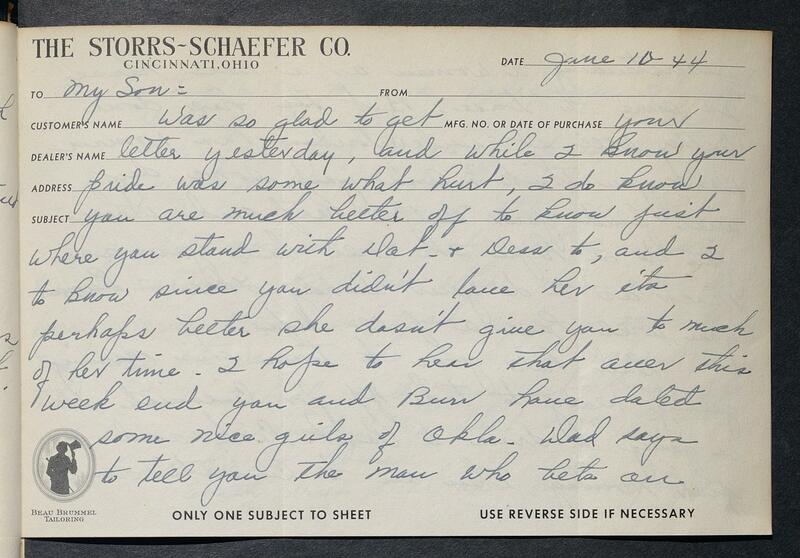 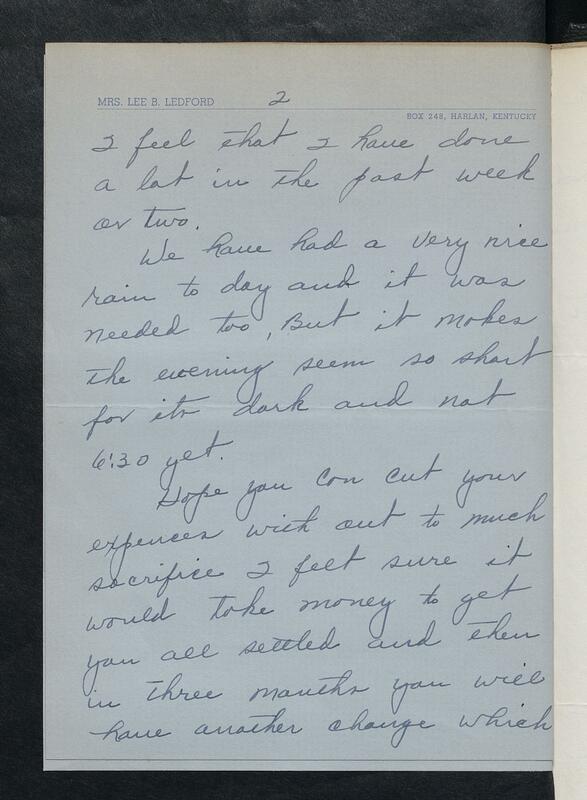 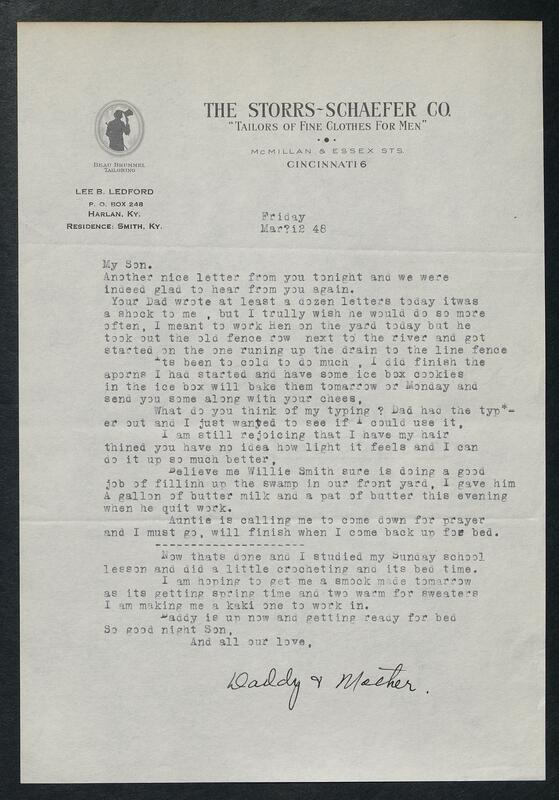 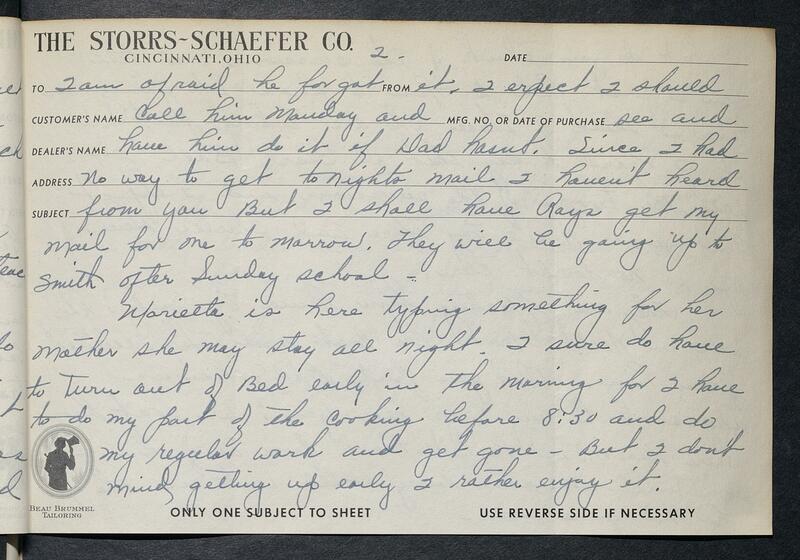 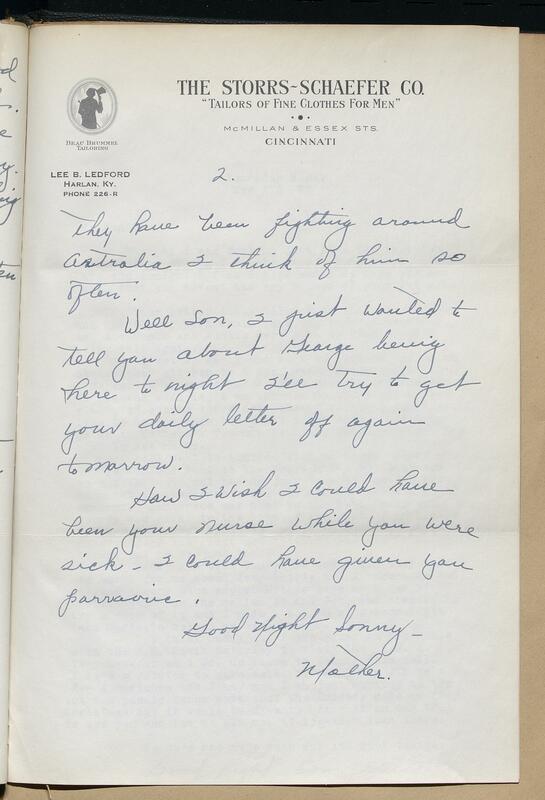 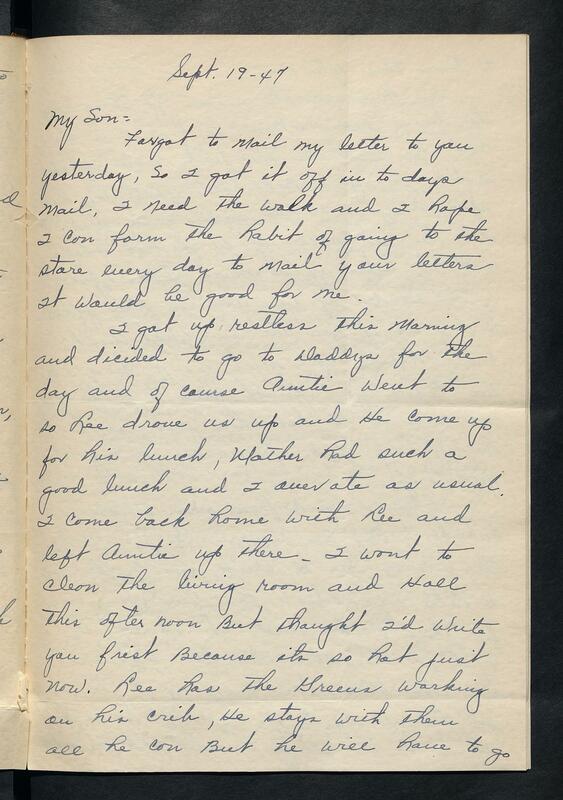 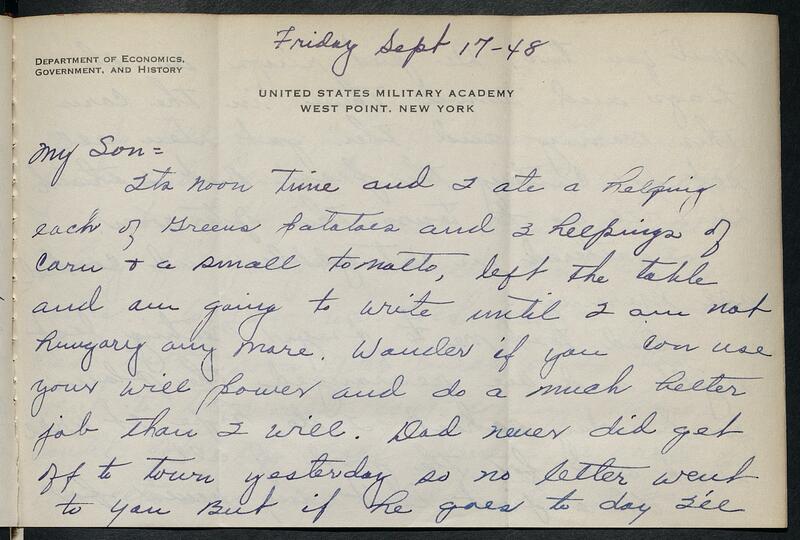 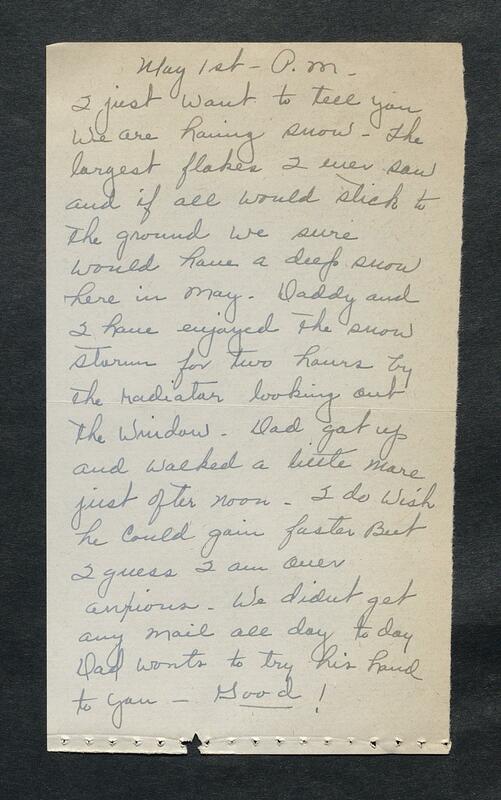 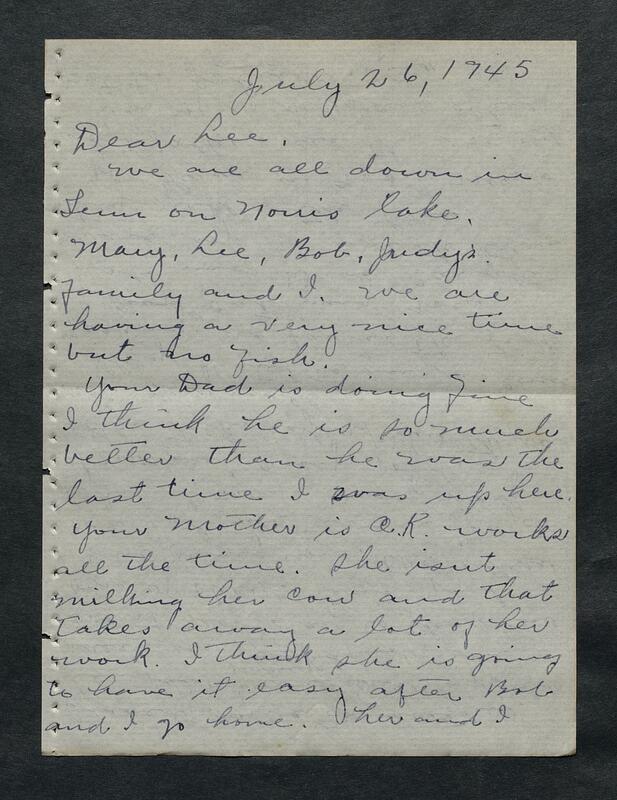 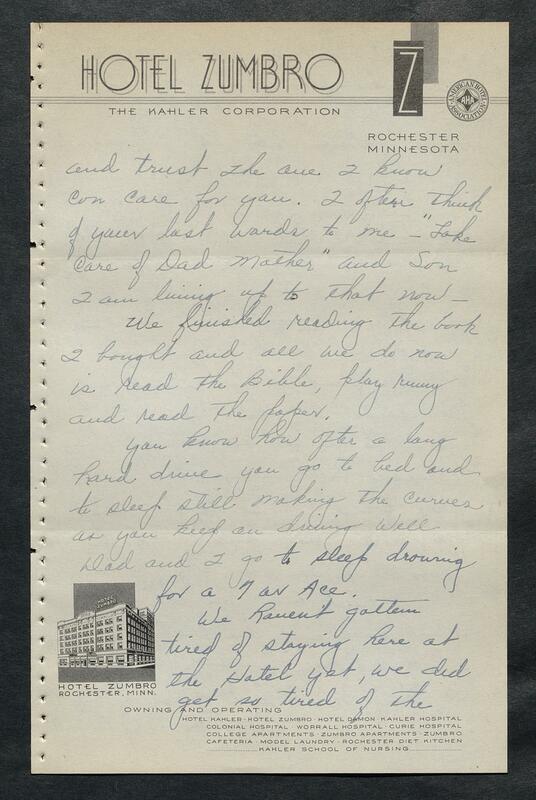 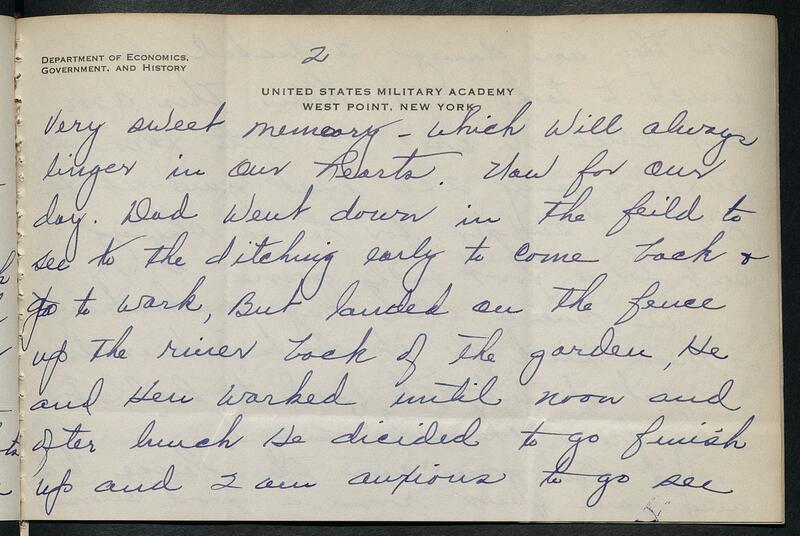 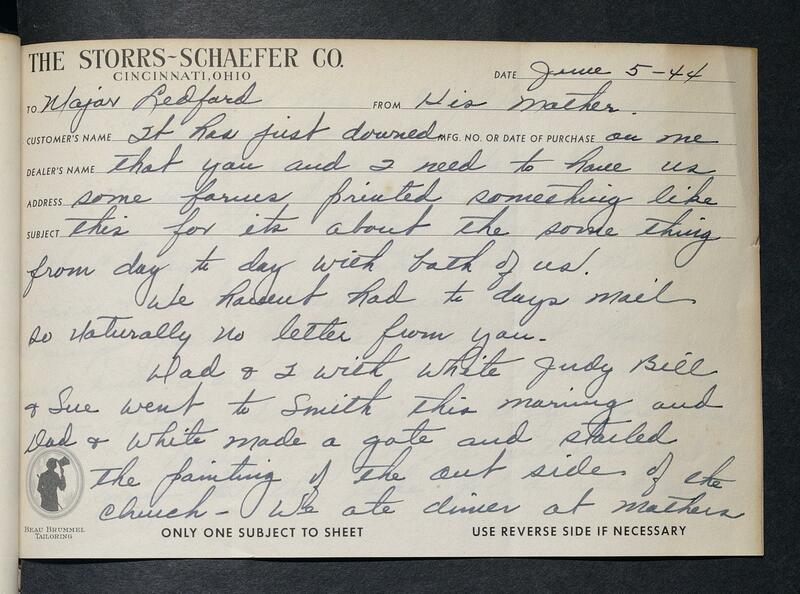 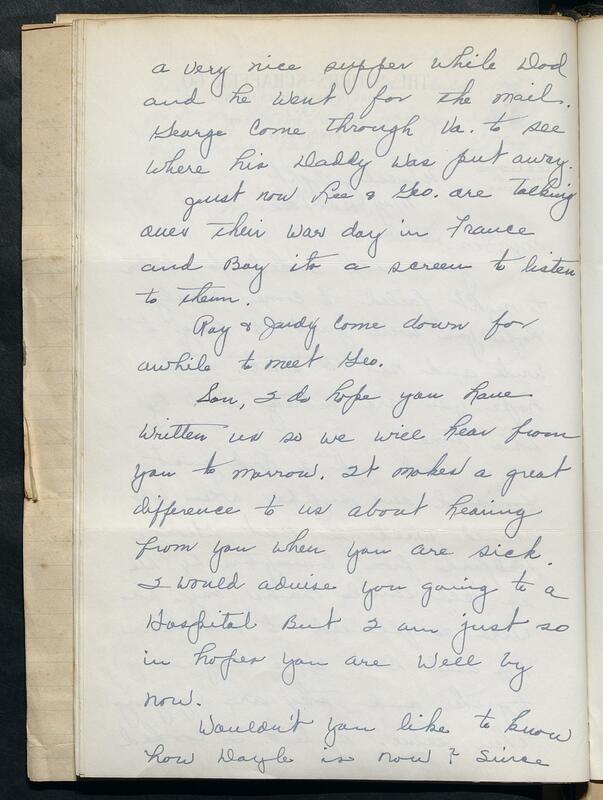 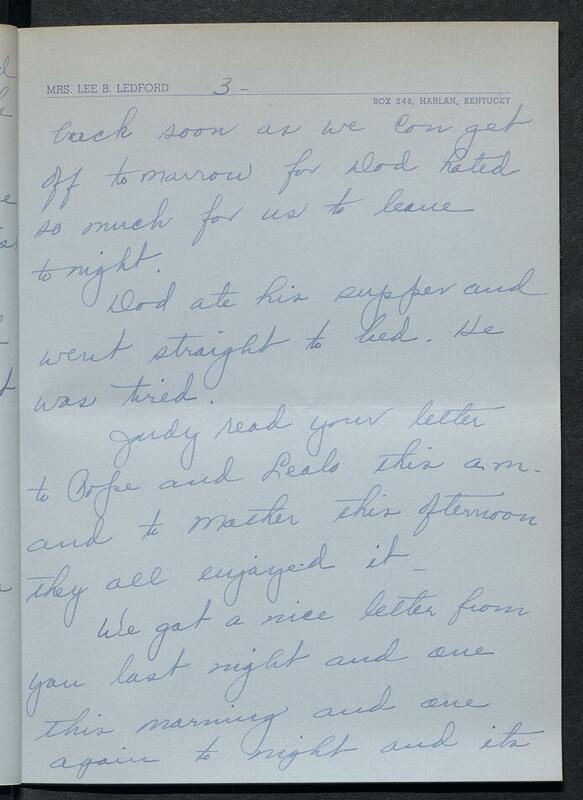 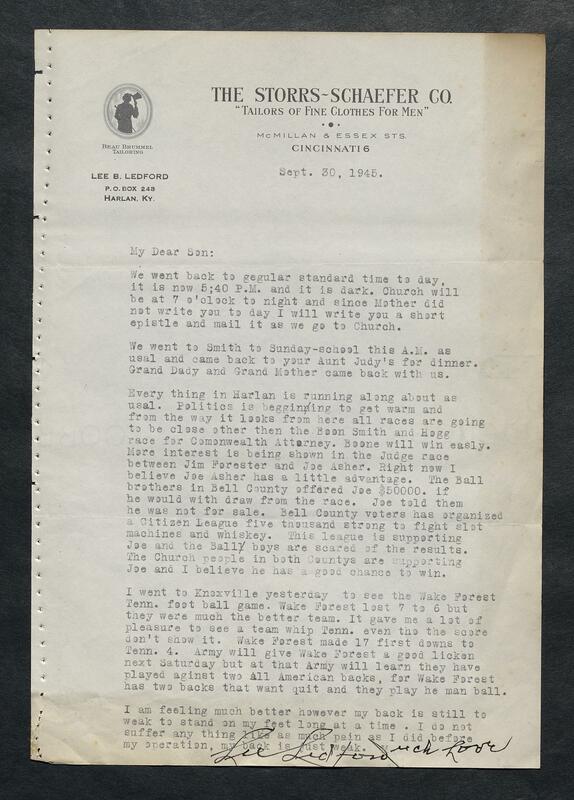 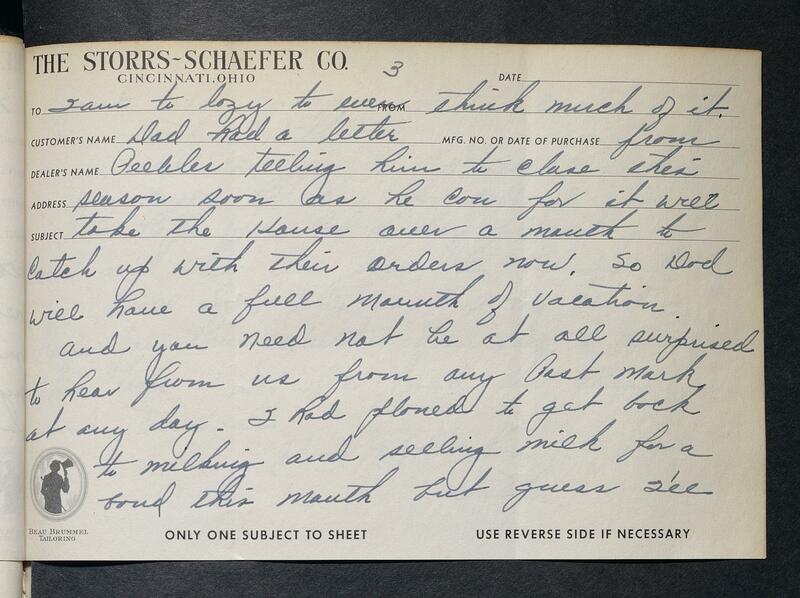 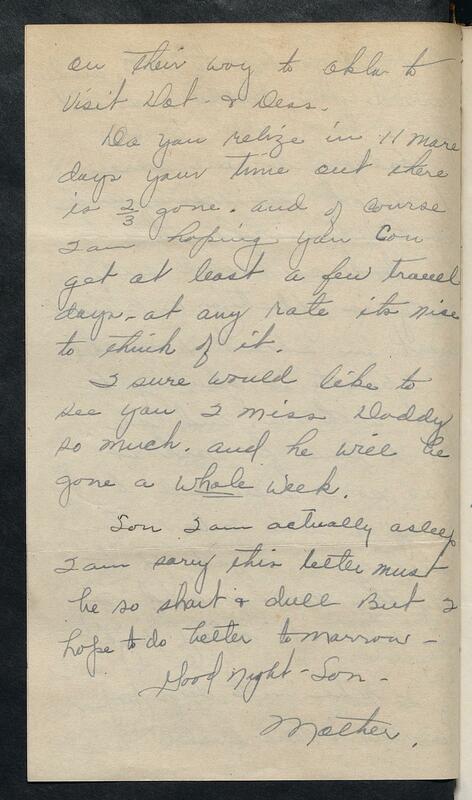 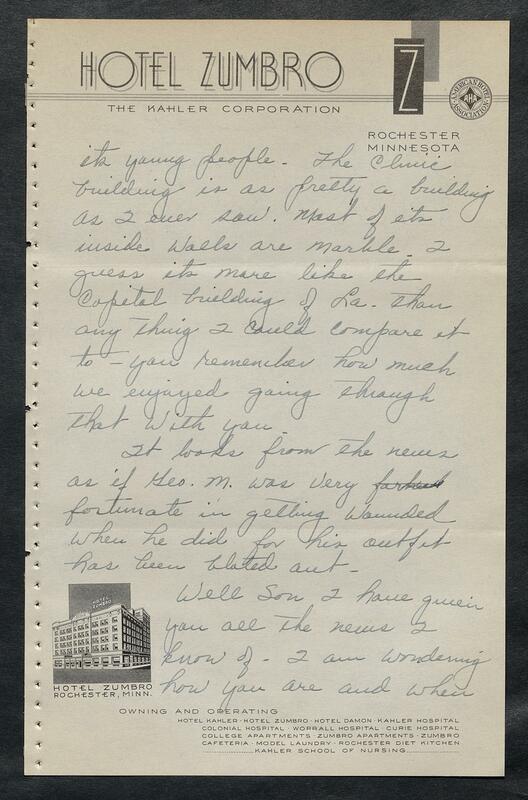 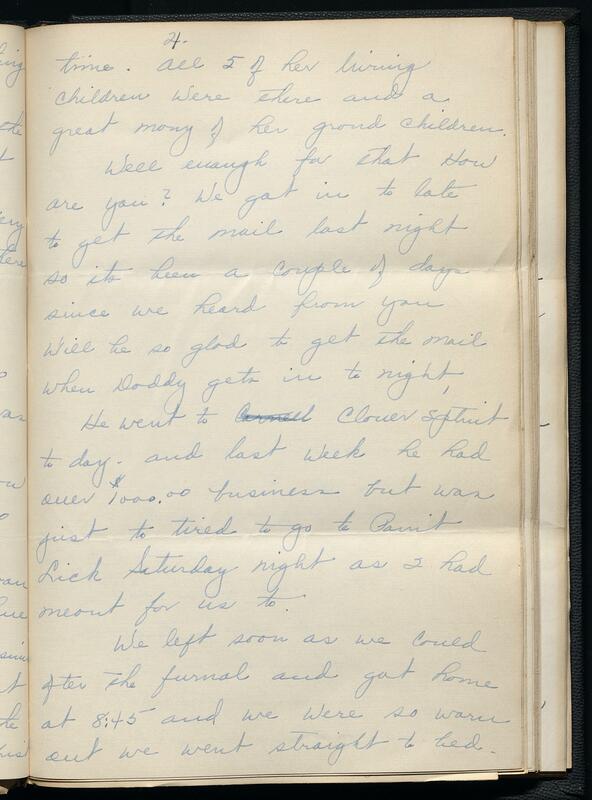 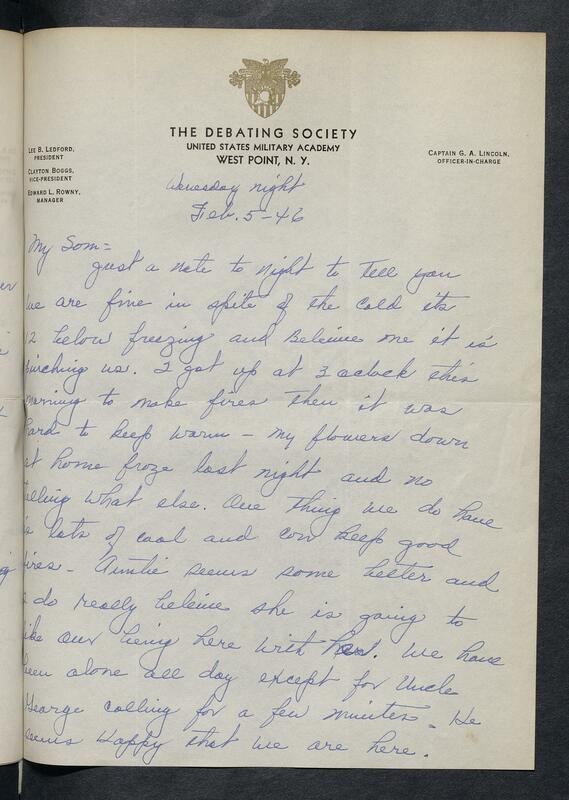 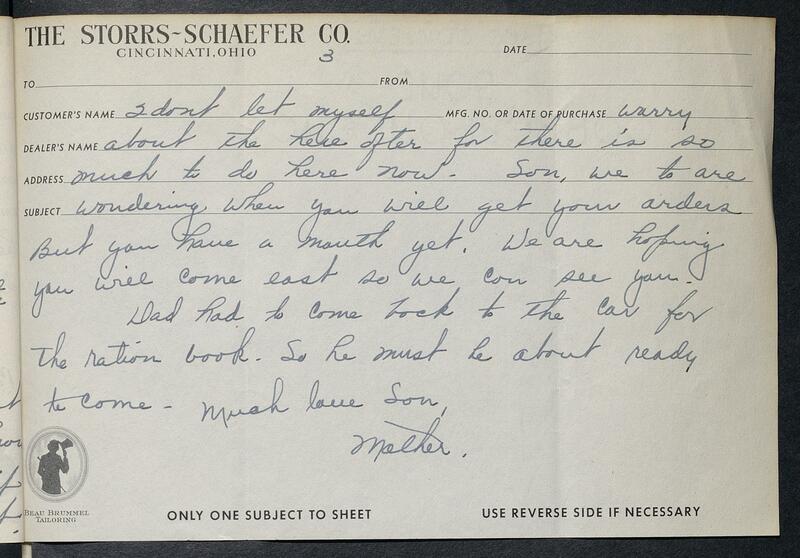 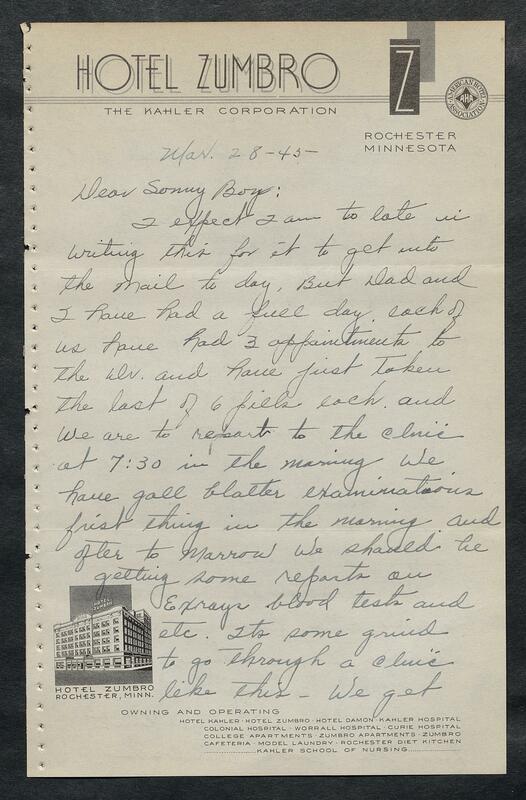 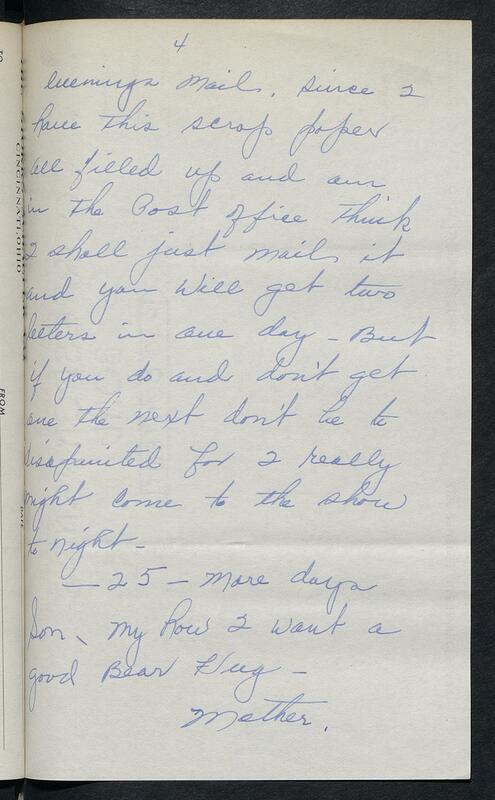 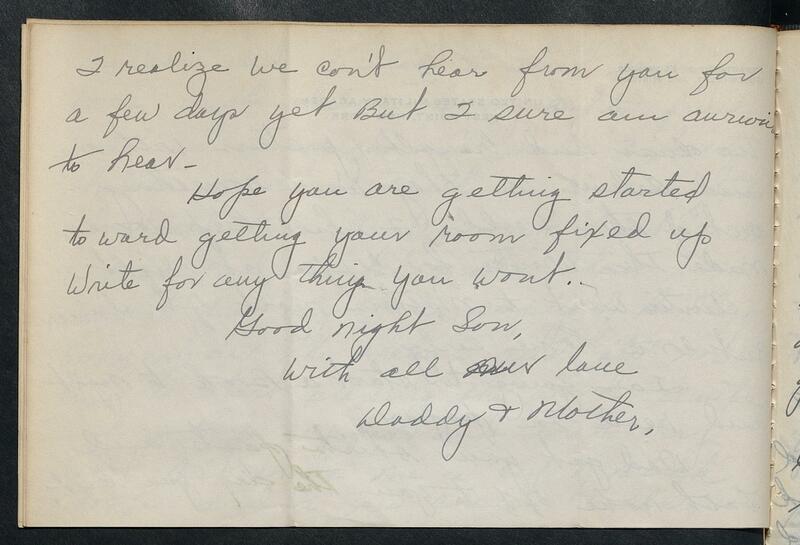 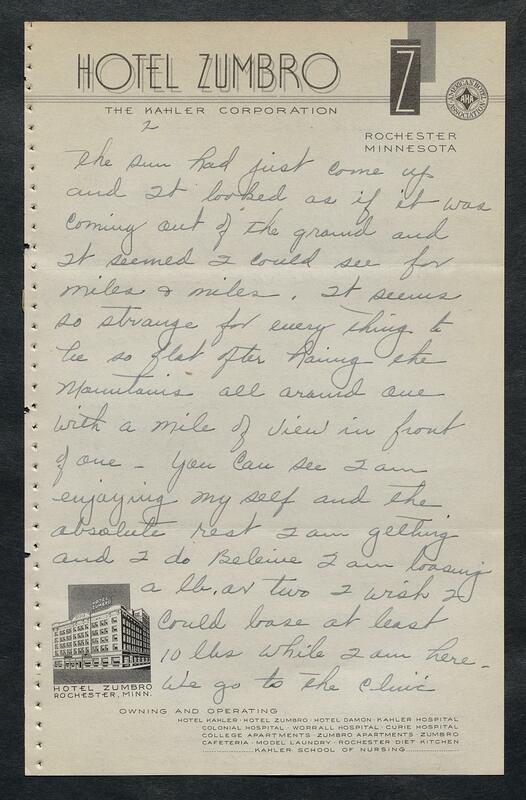 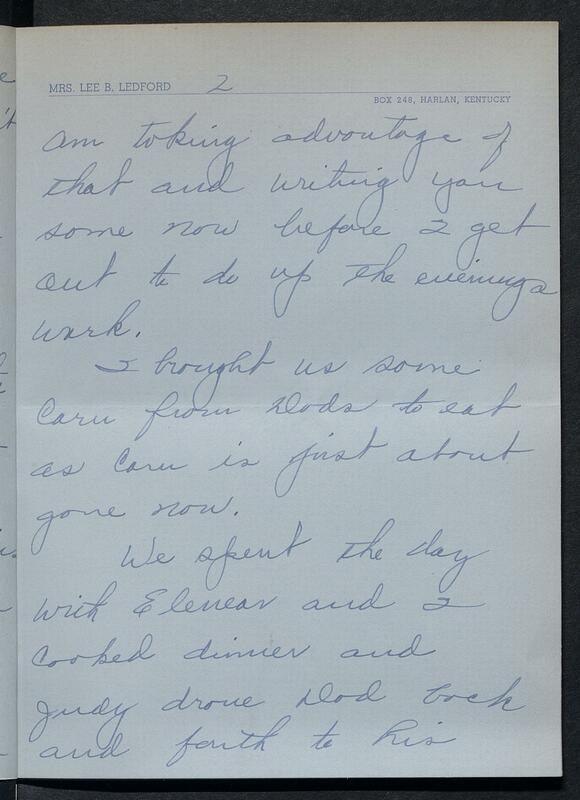 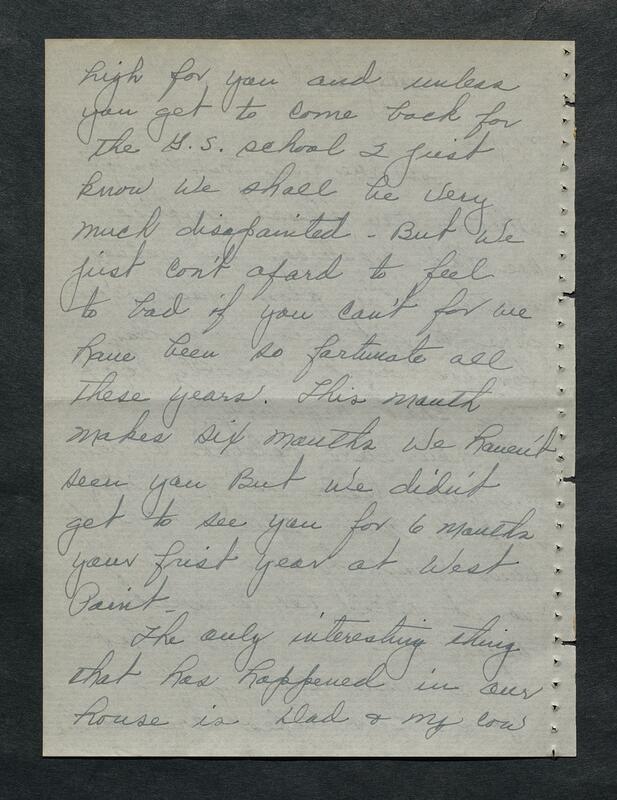 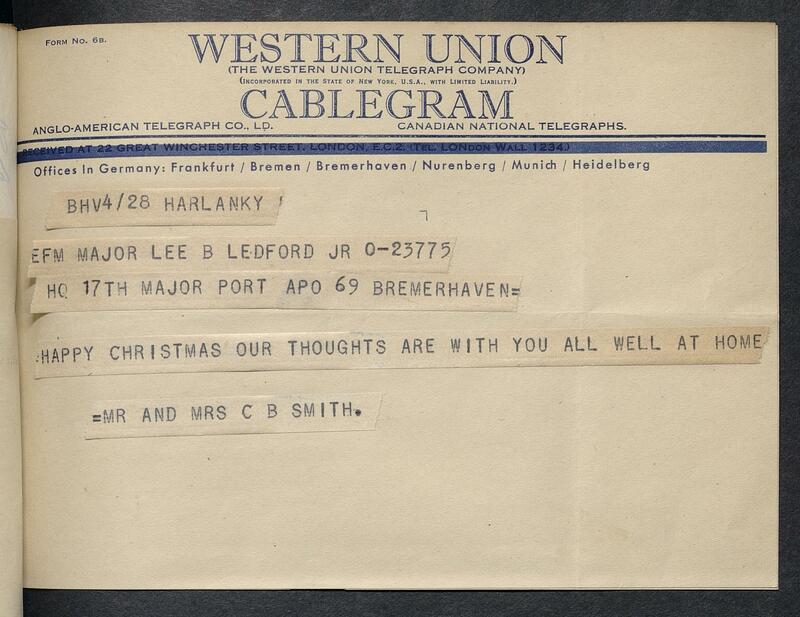 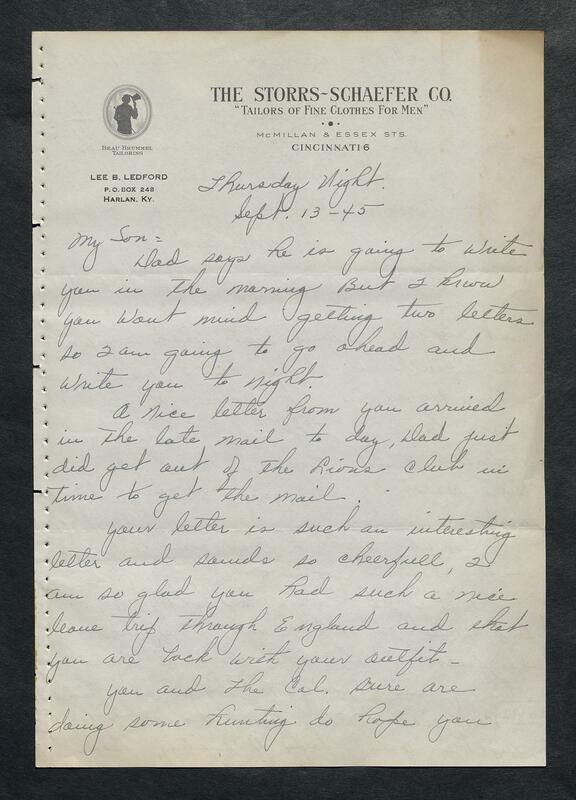 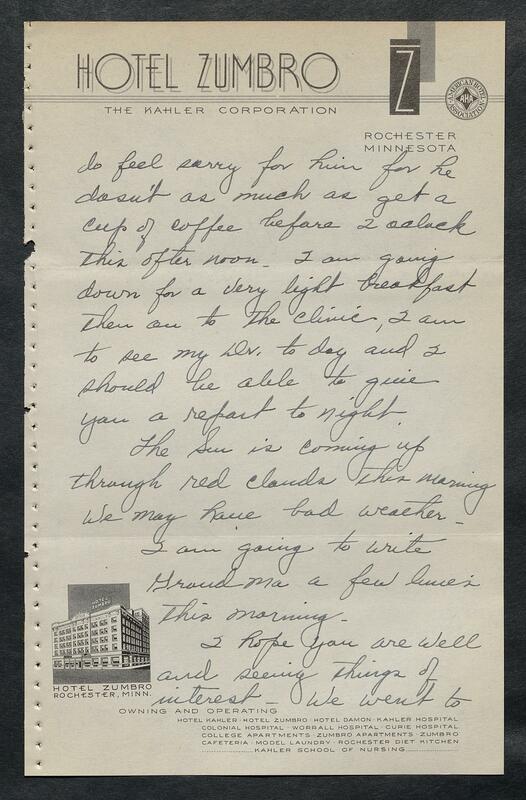 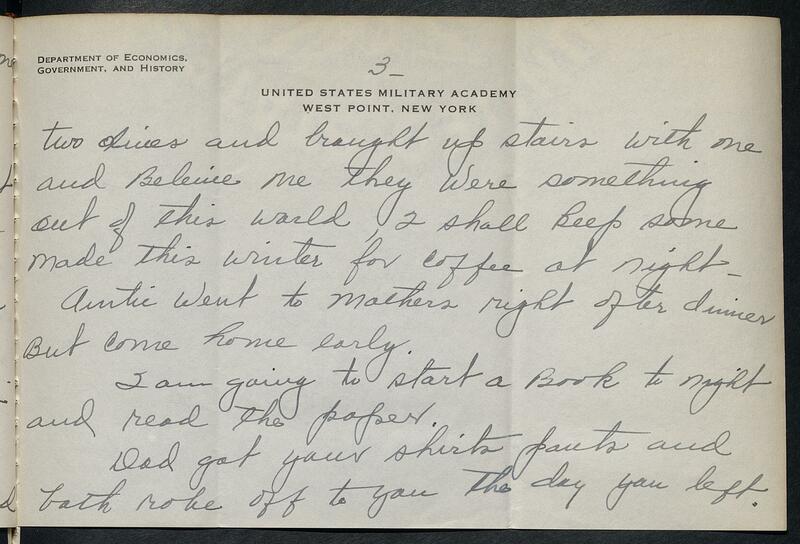 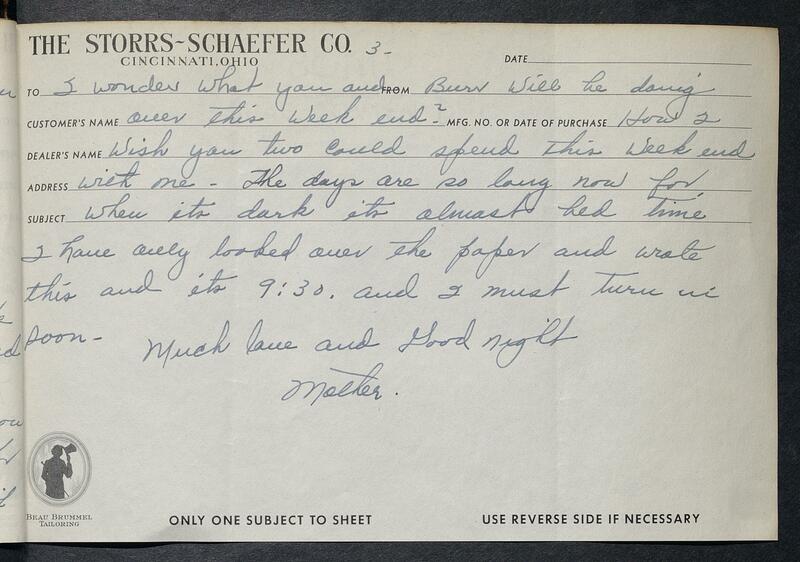 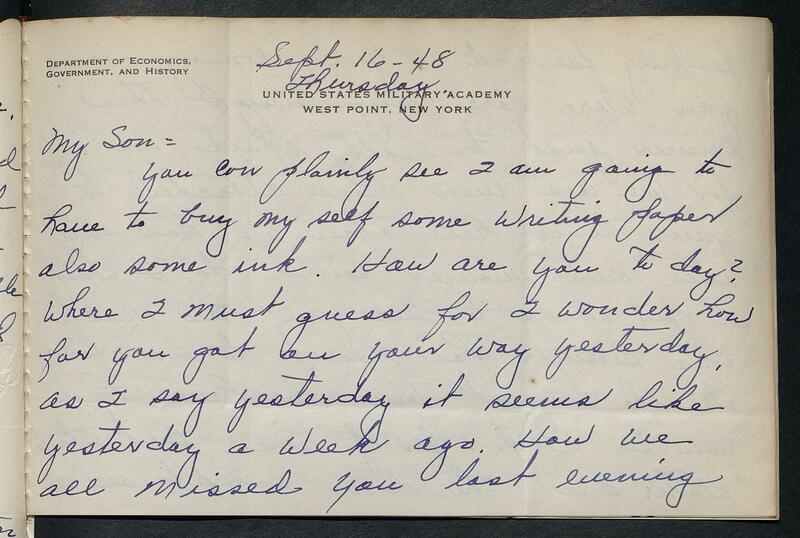 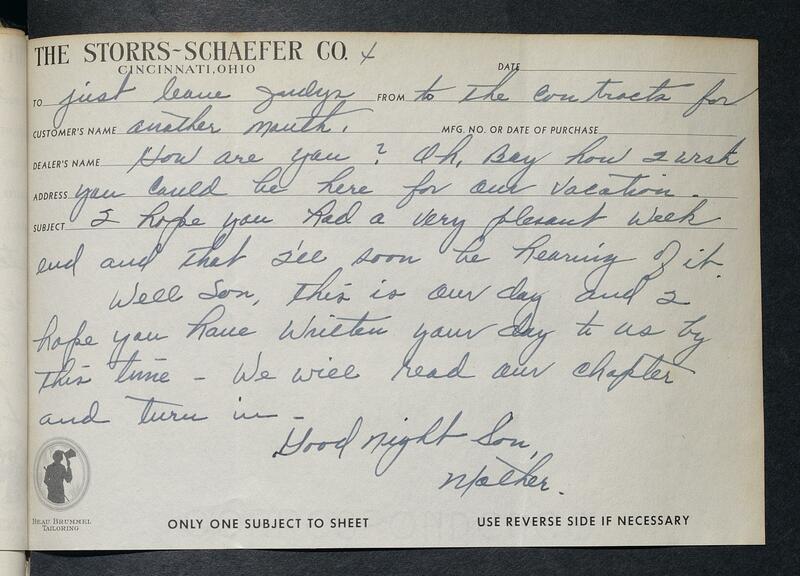 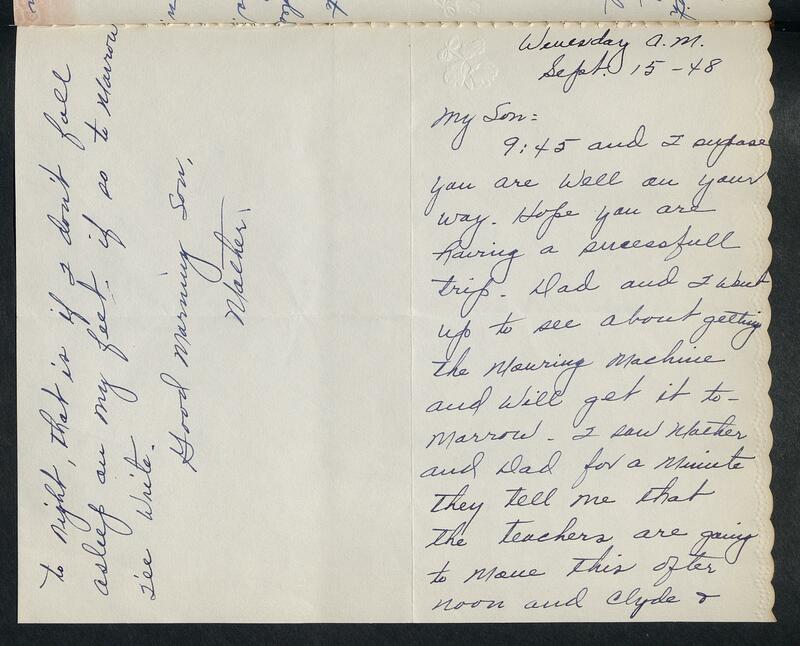 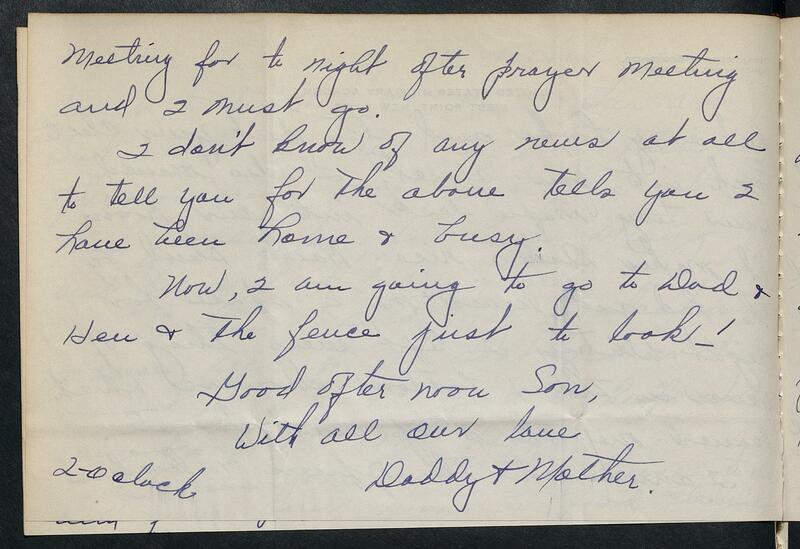 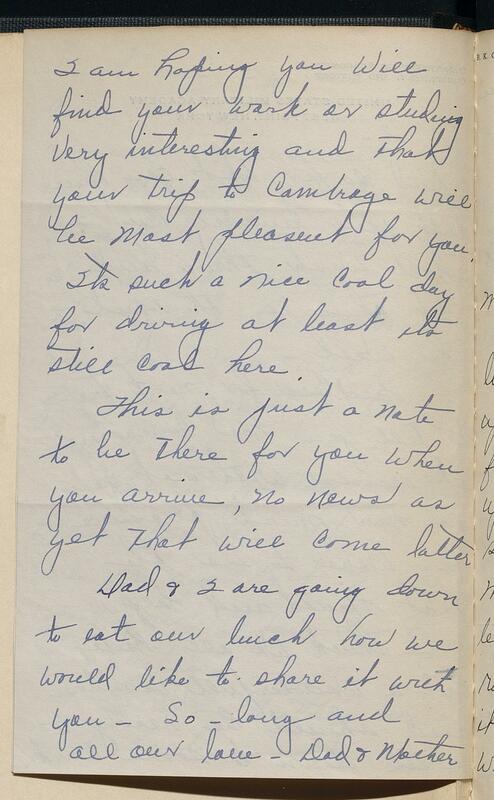 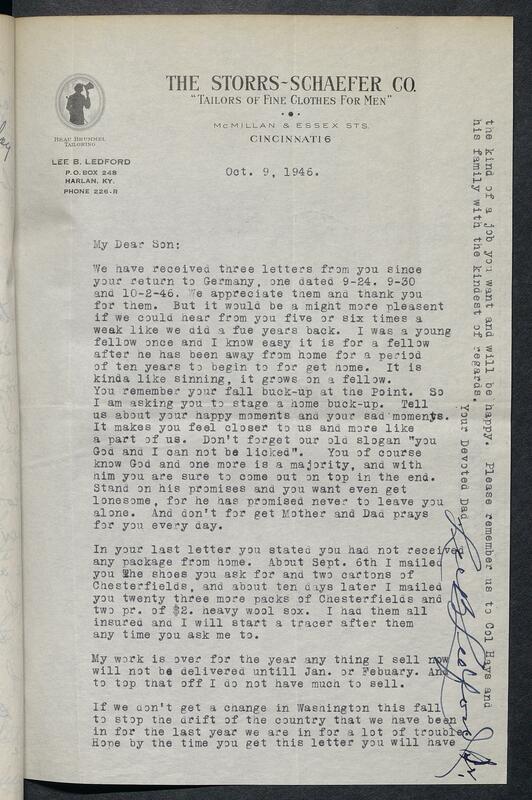 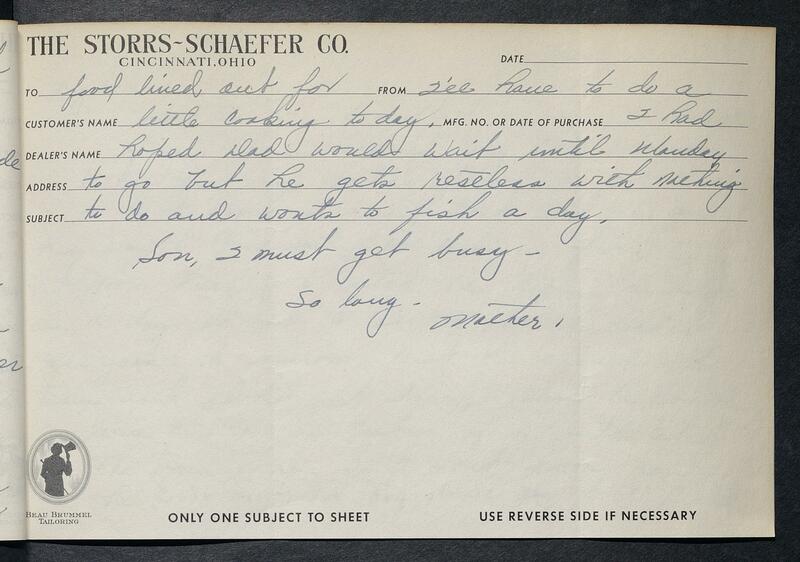 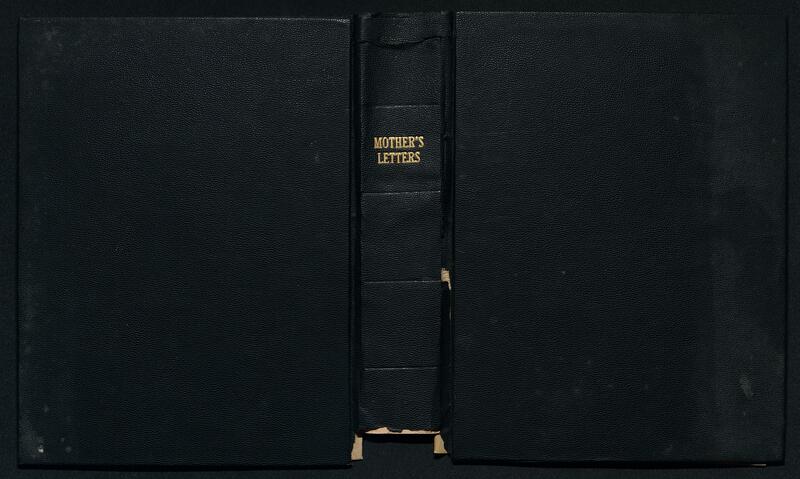 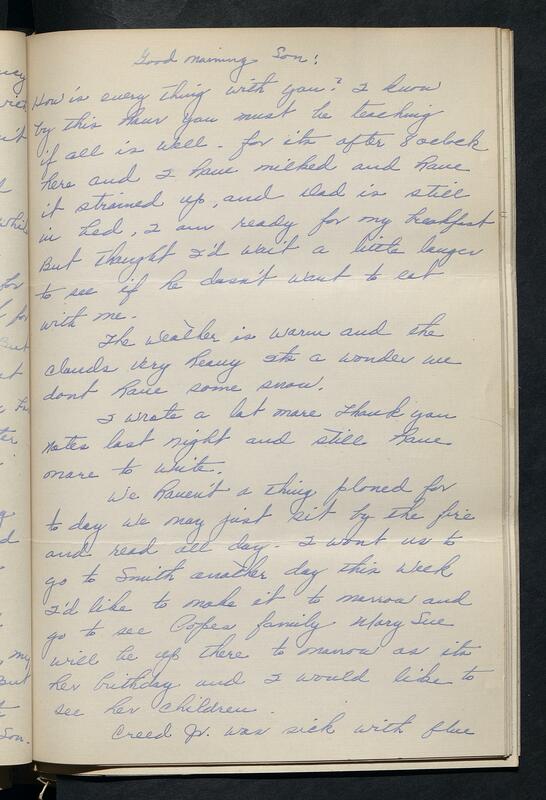 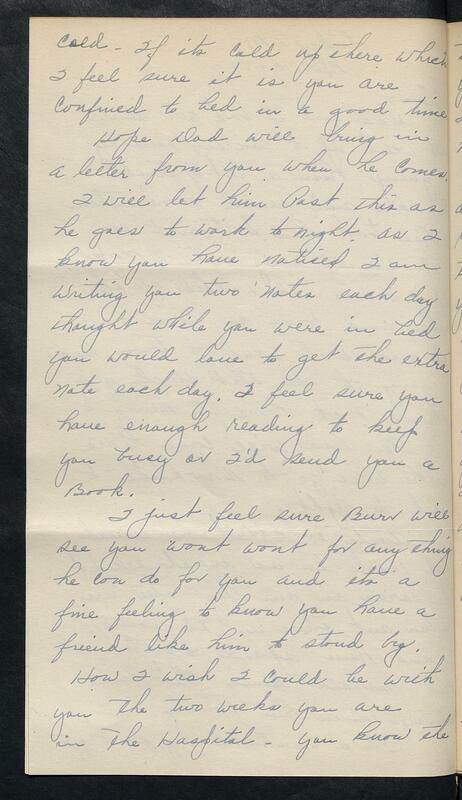 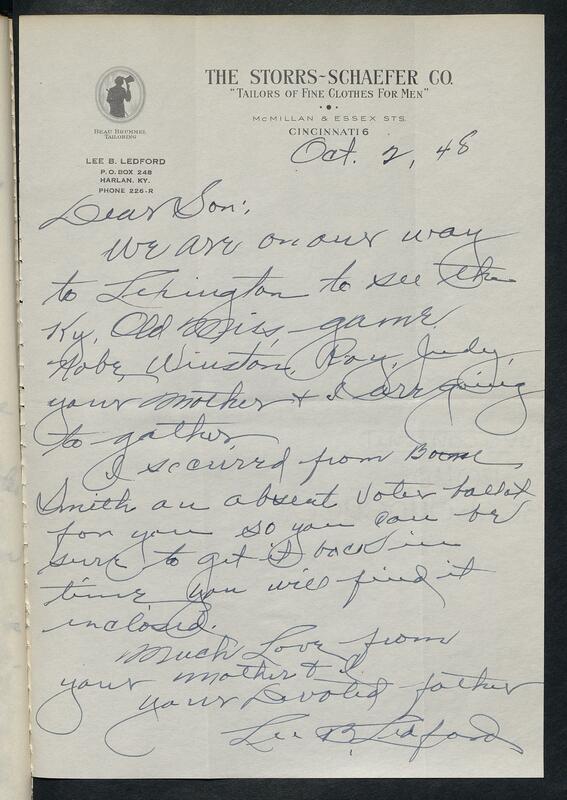 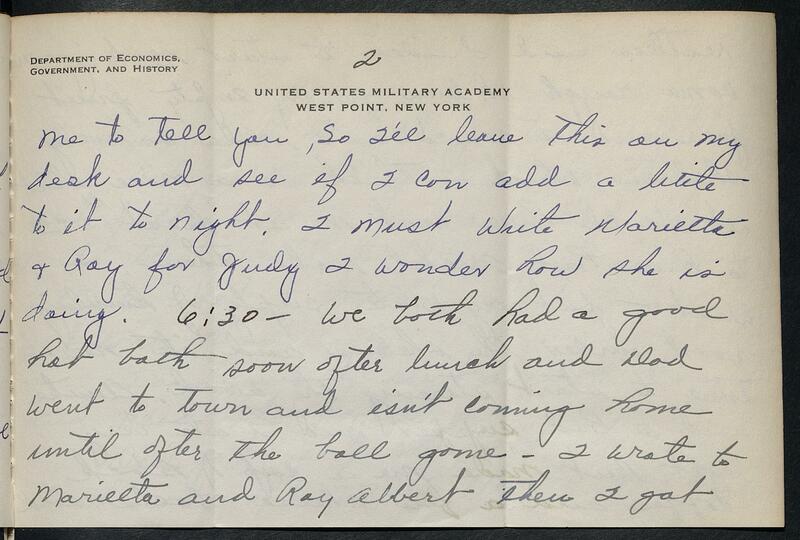 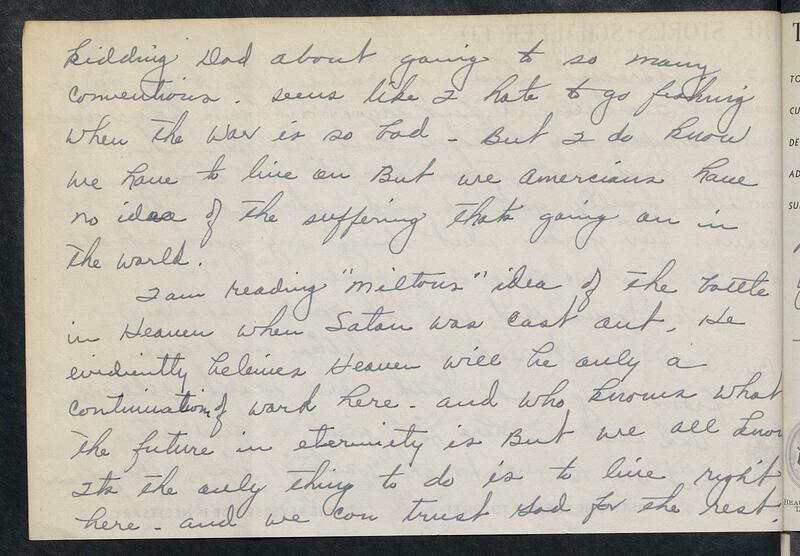 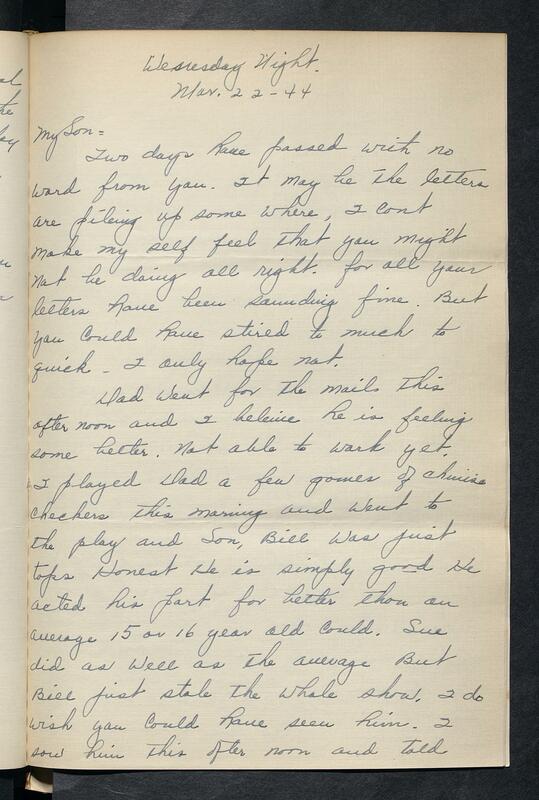 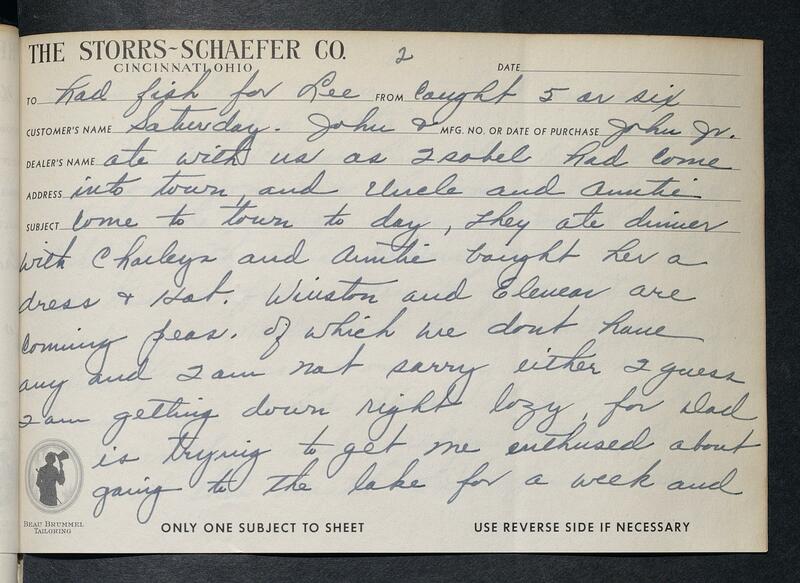 On and off until the letters stop, she writes to both her sons, Lee and Virgil Mac Ledford, in one letter. 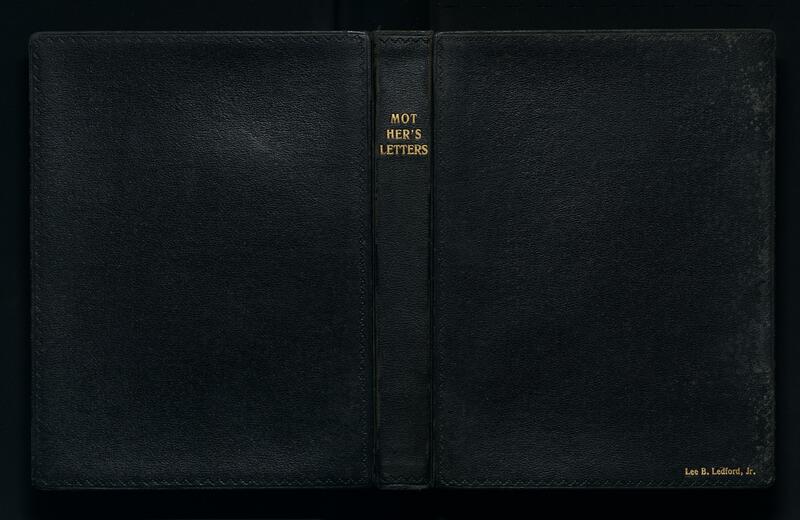 Letters in volumes 1-4 are out of order, usually going back in time. 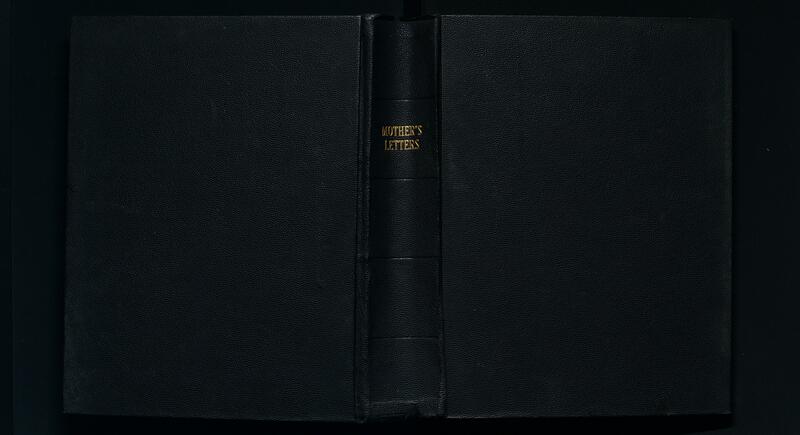 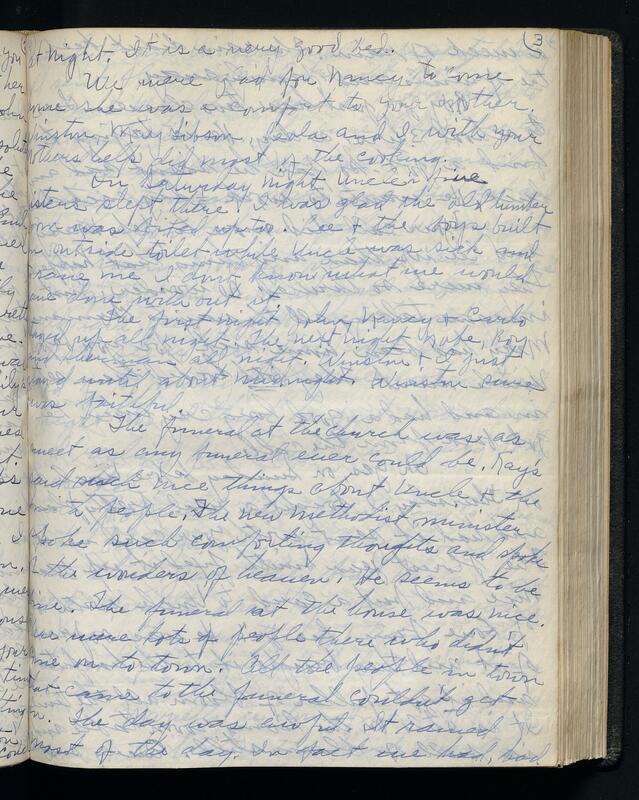 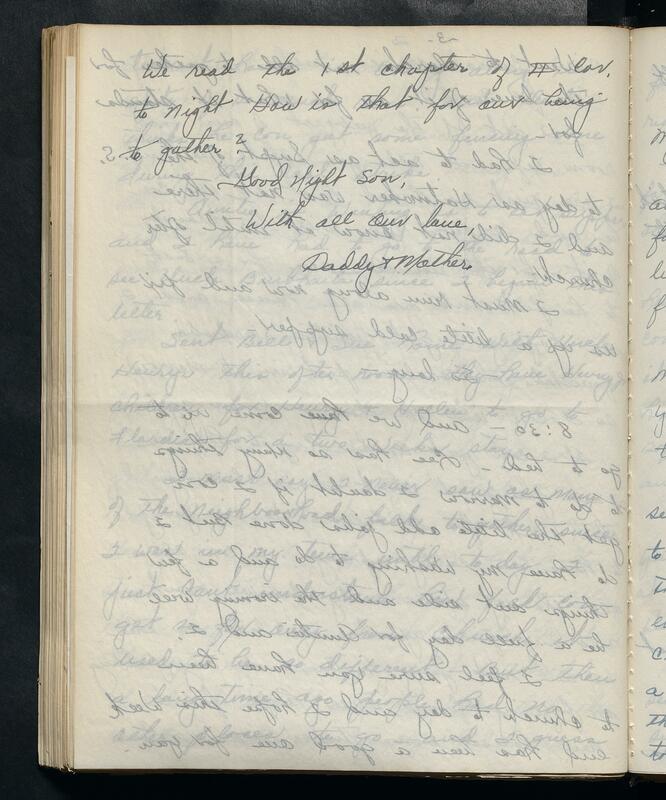 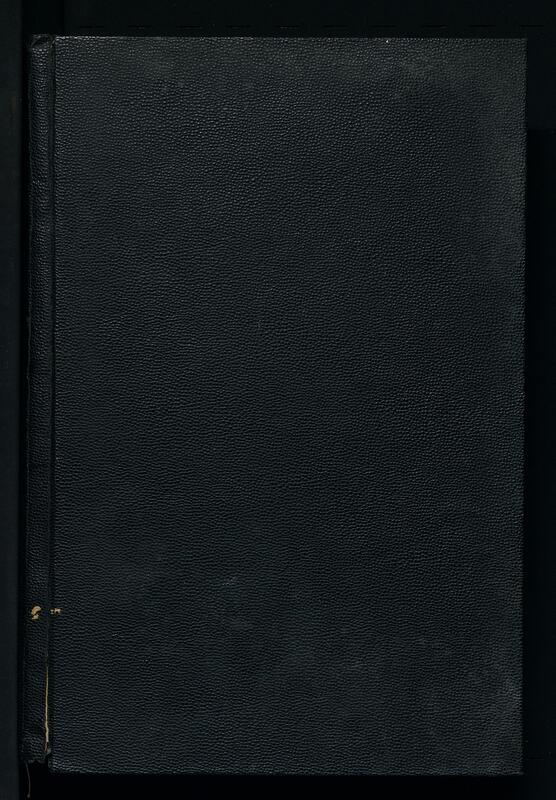 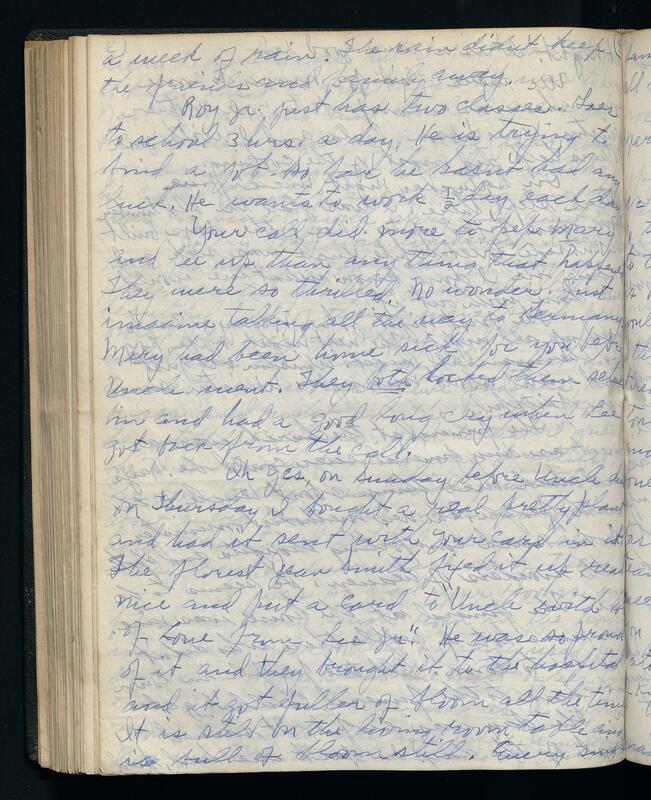 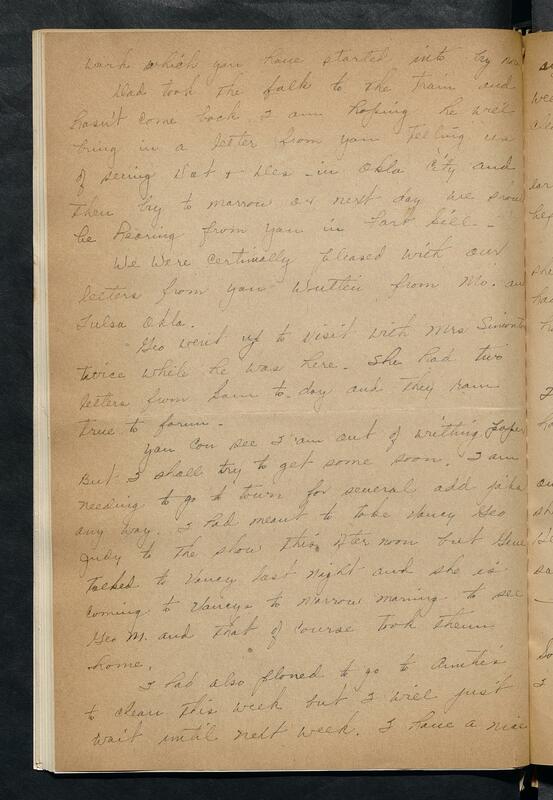 After Volume 4, the letters (dated at the top) are in chronological order. The occasional letter from another family member or business is interspersed among Mary or Lee's letters in most of the volumes. 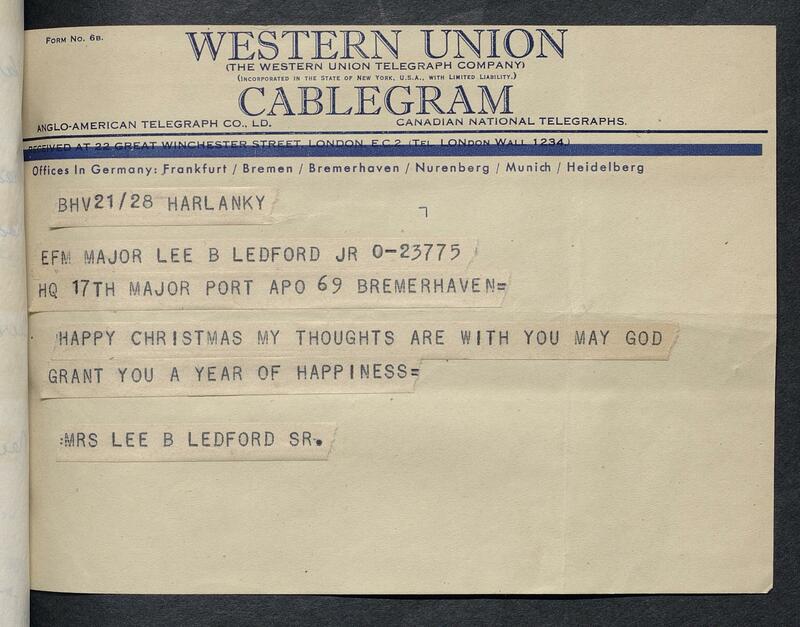 Enclosed in Volume 5 is an envelope of letters regarding Lee, Jr.'s appointment at West Point dated 1936.